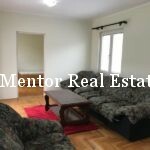 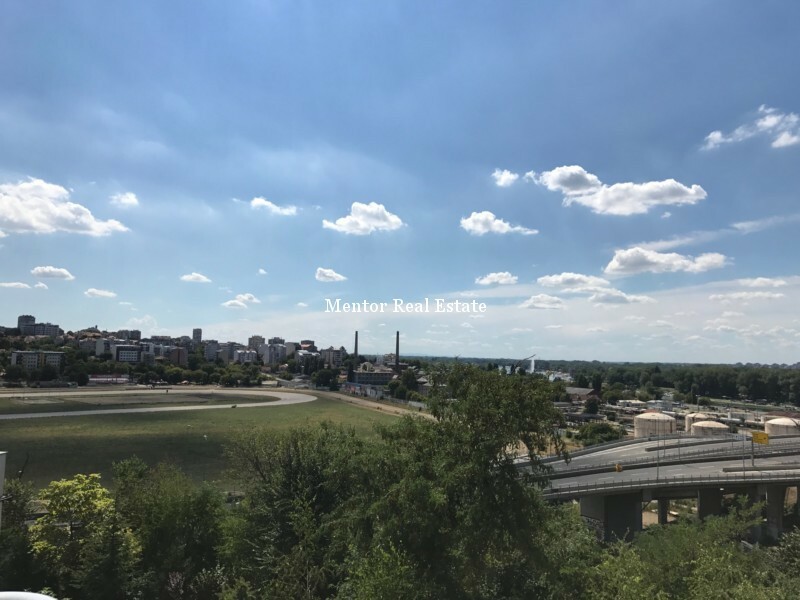 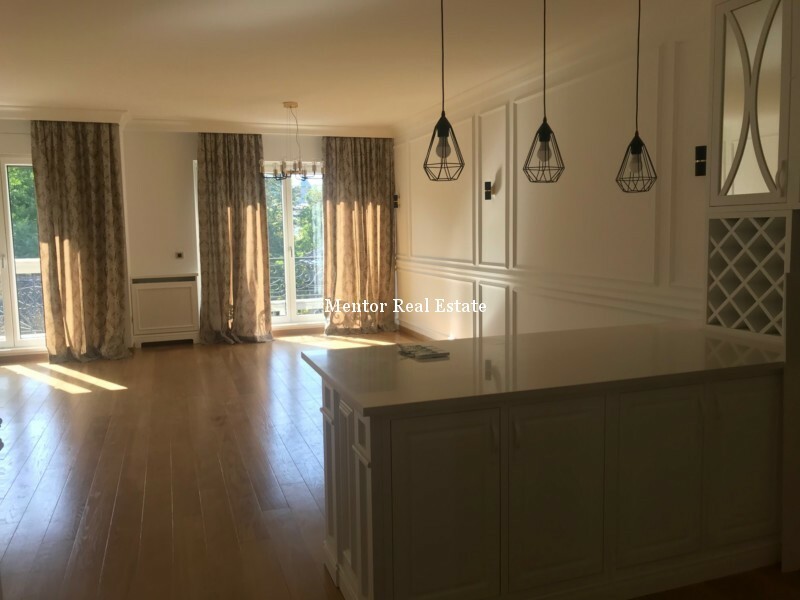 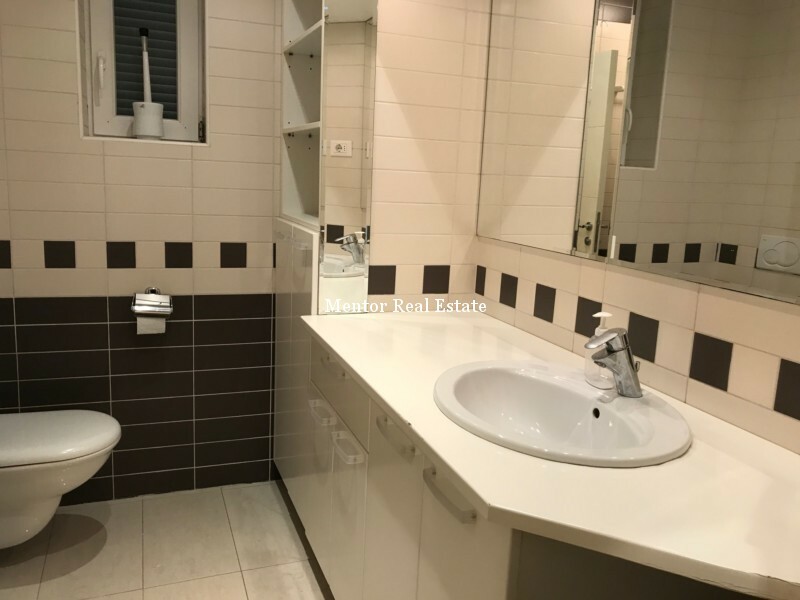 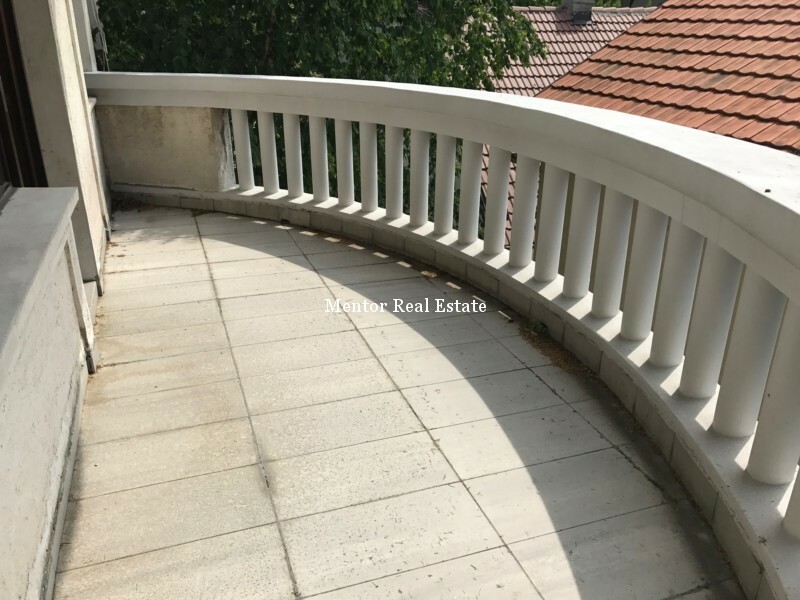 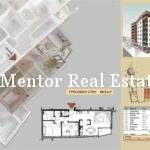 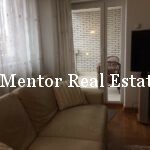 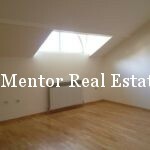 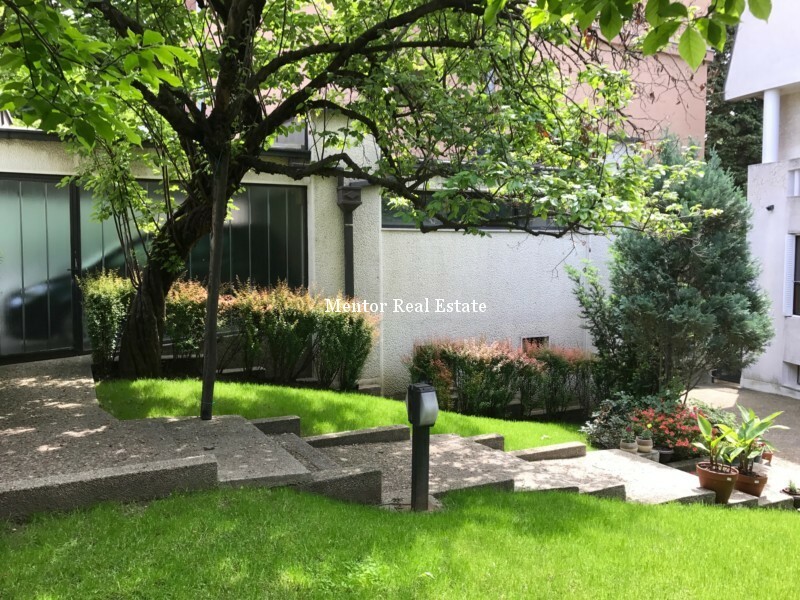 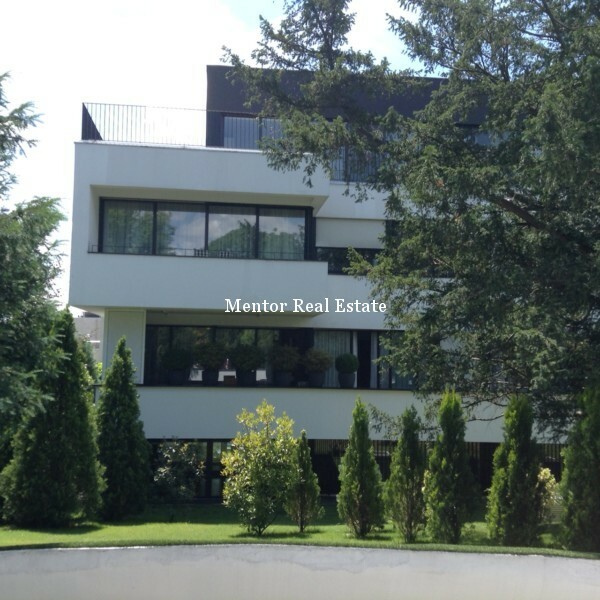 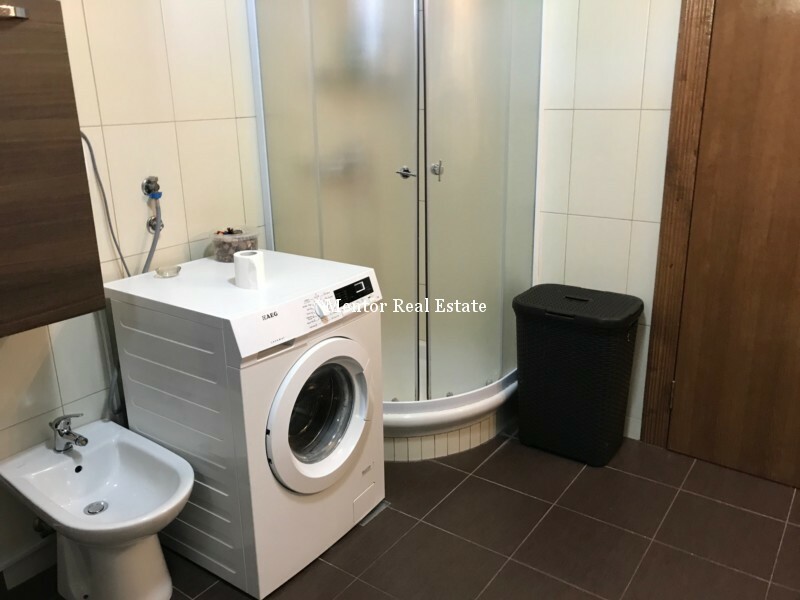 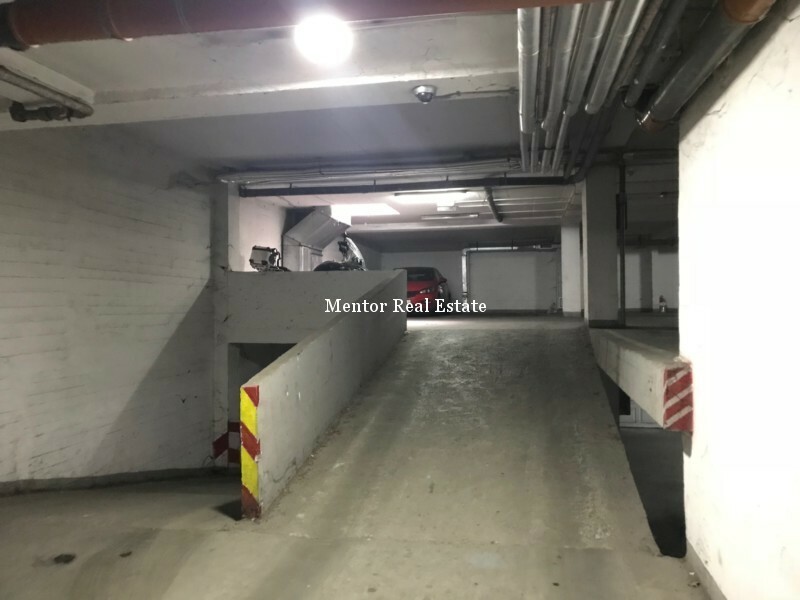 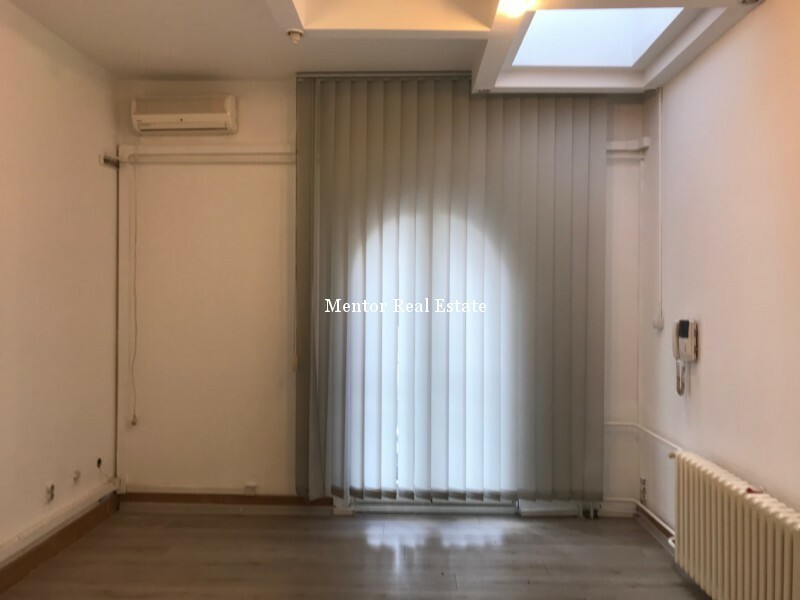 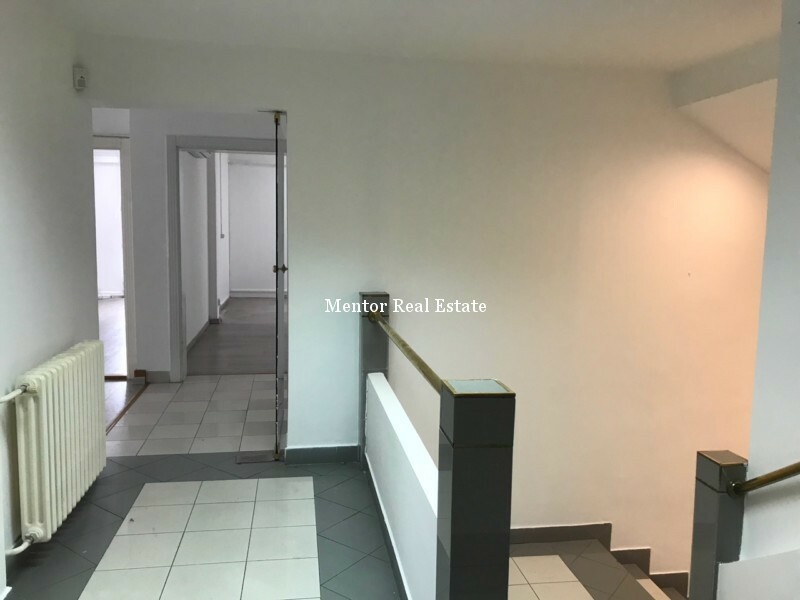 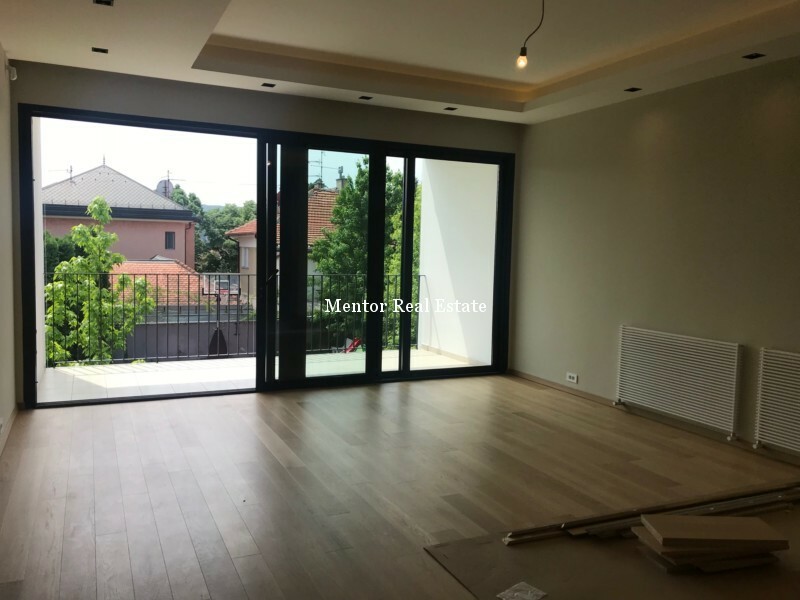 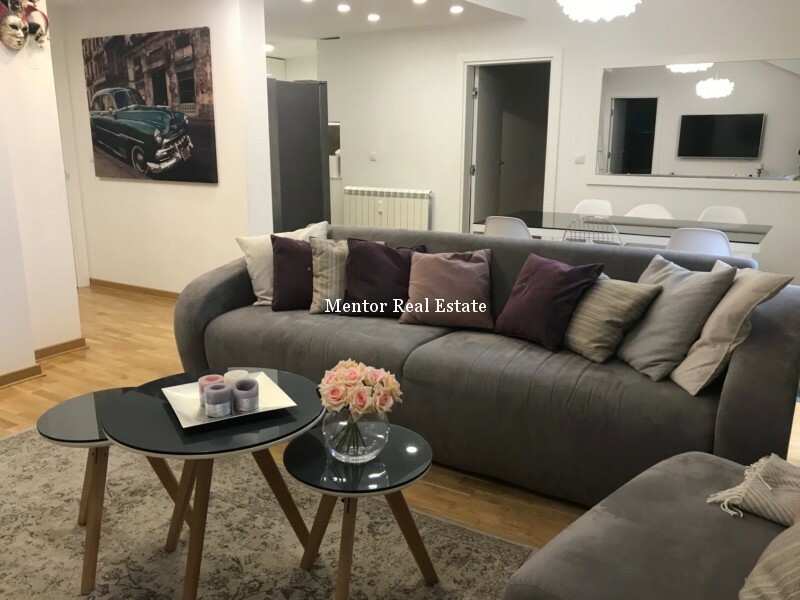 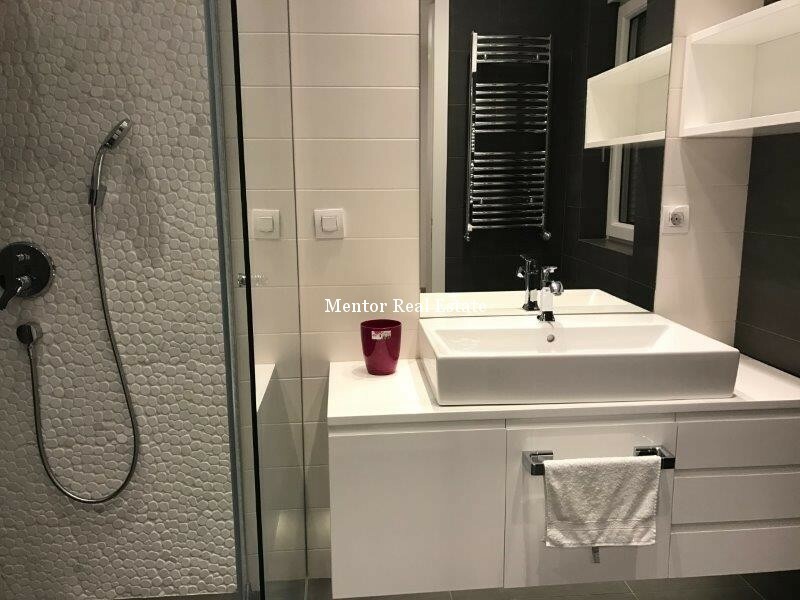 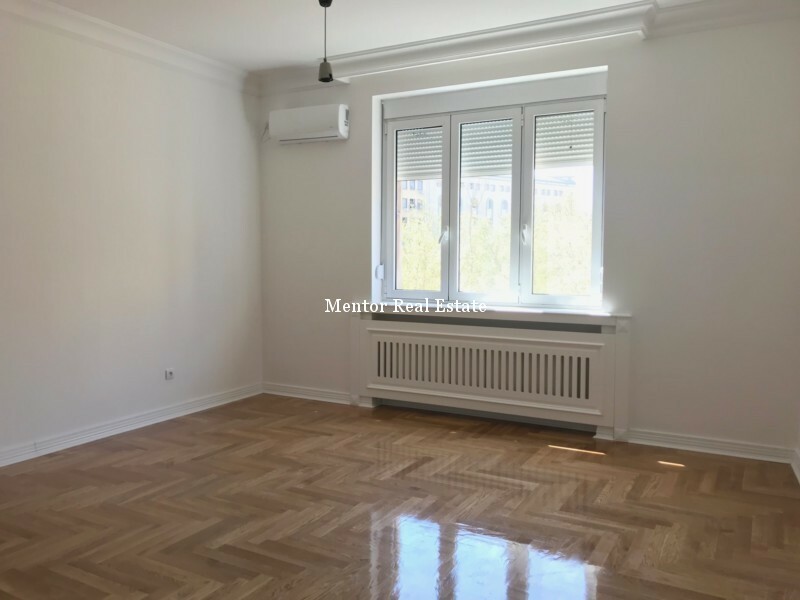 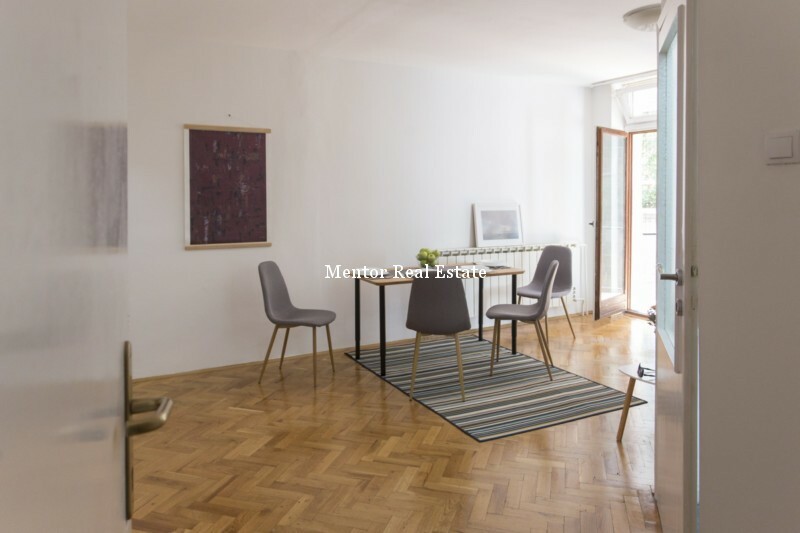 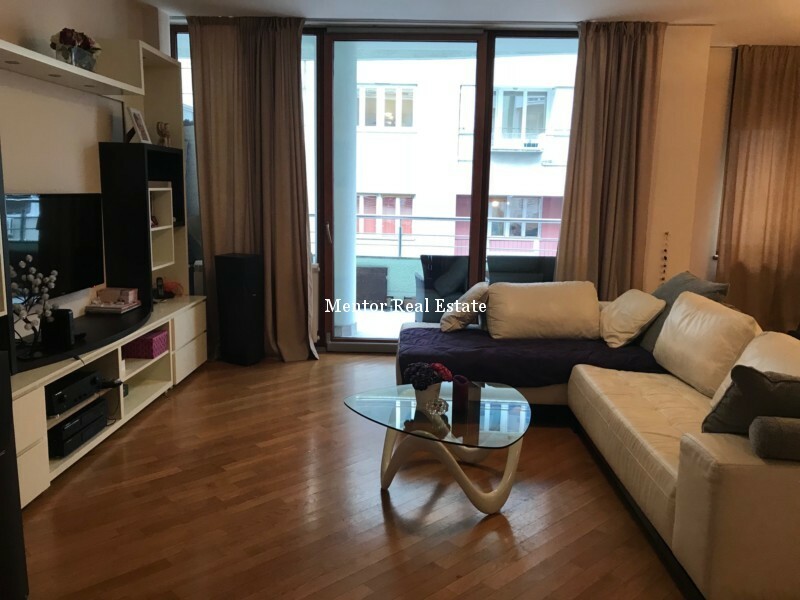 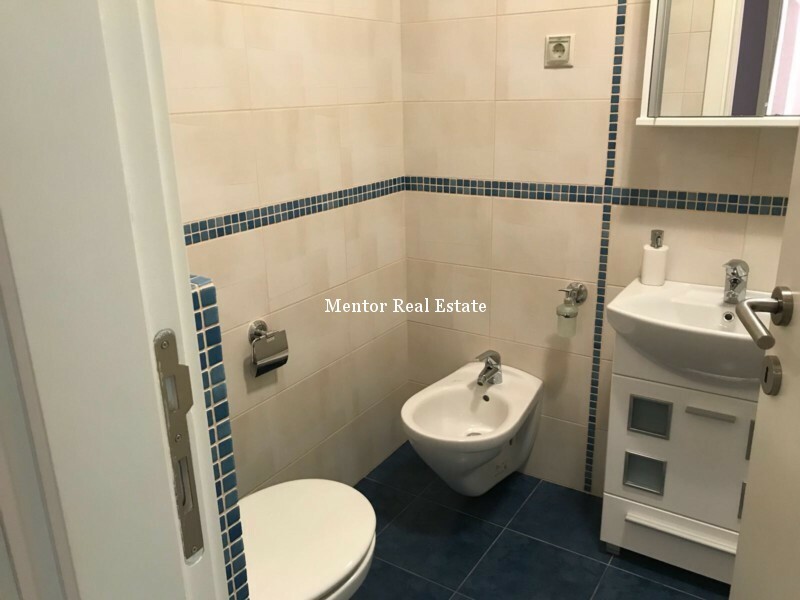 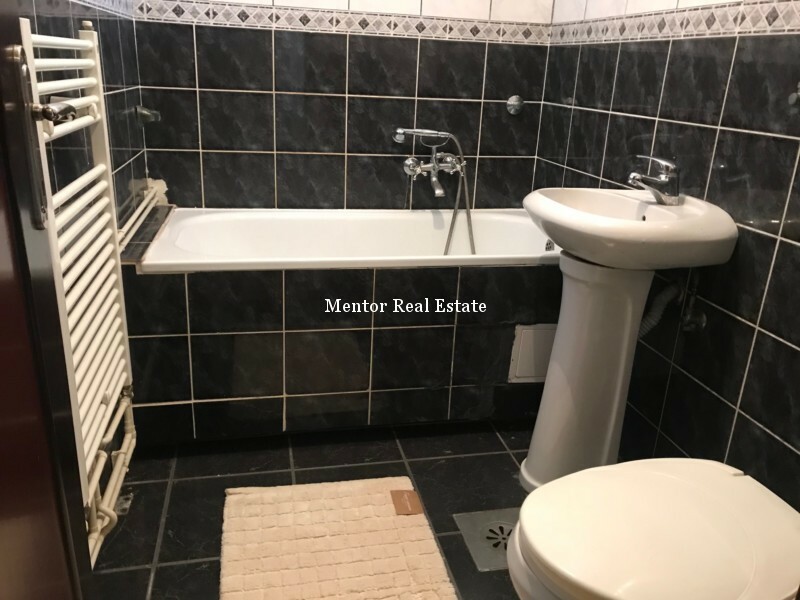 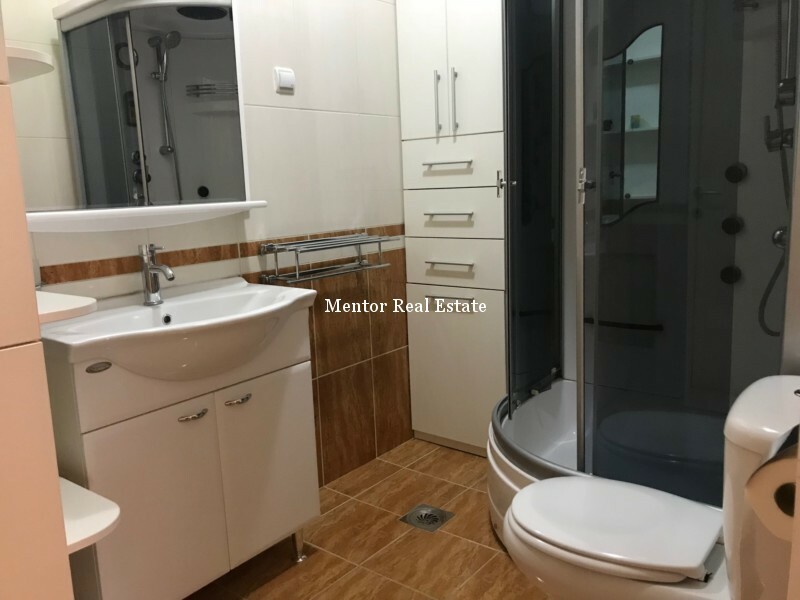 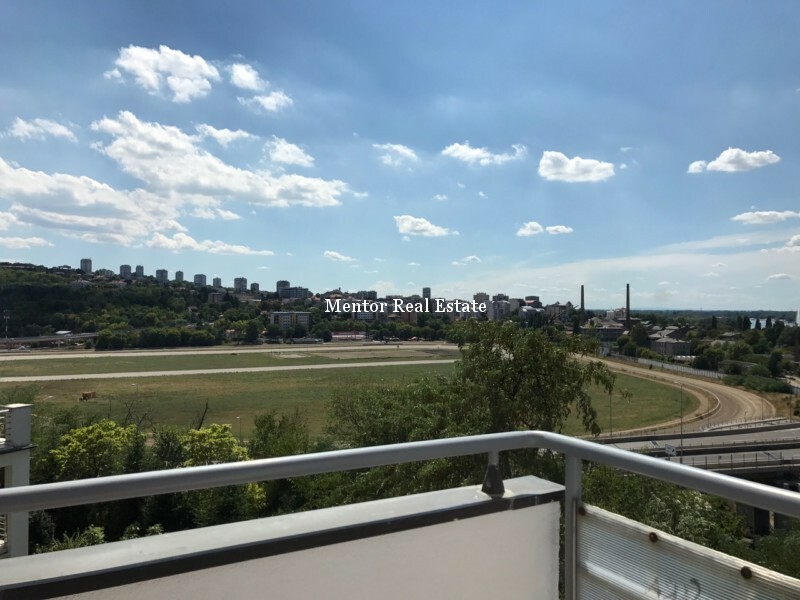 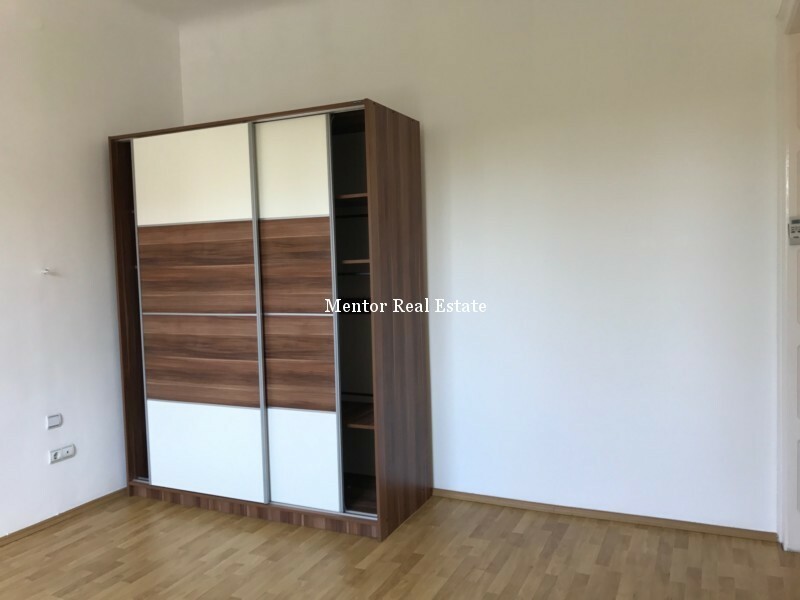 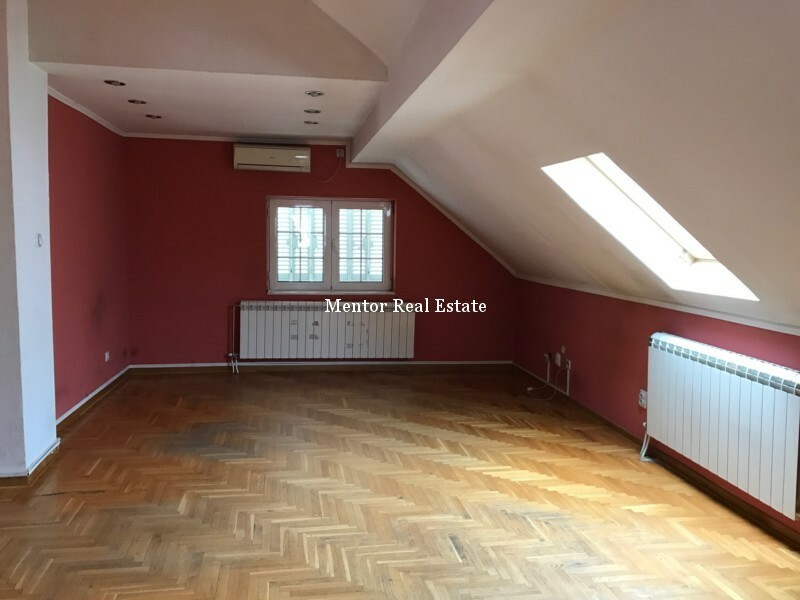 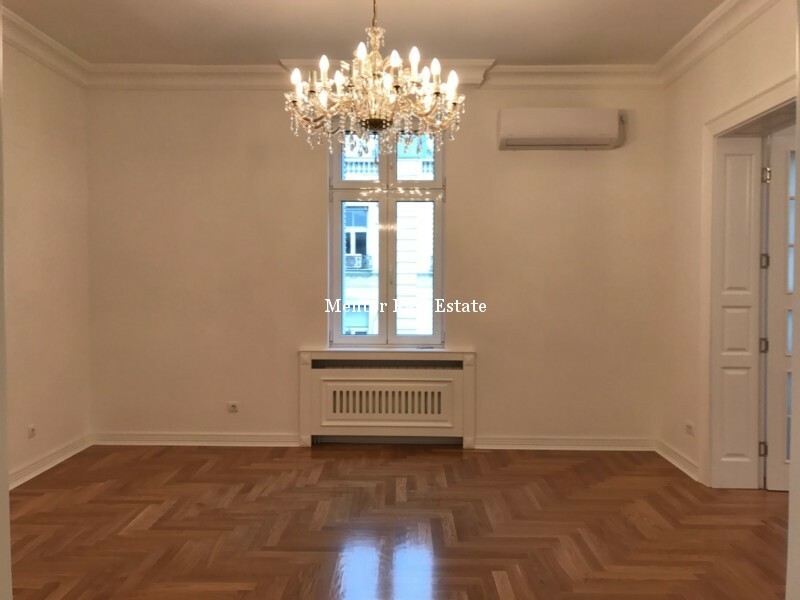 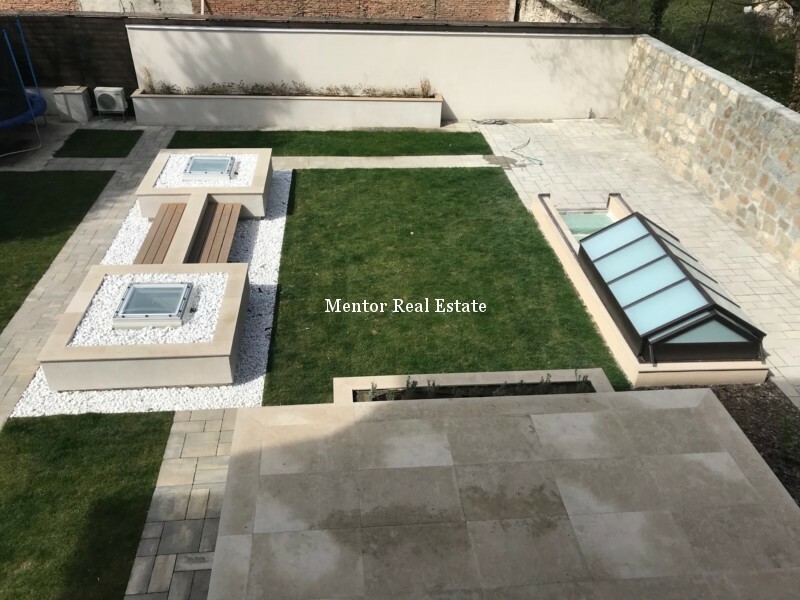 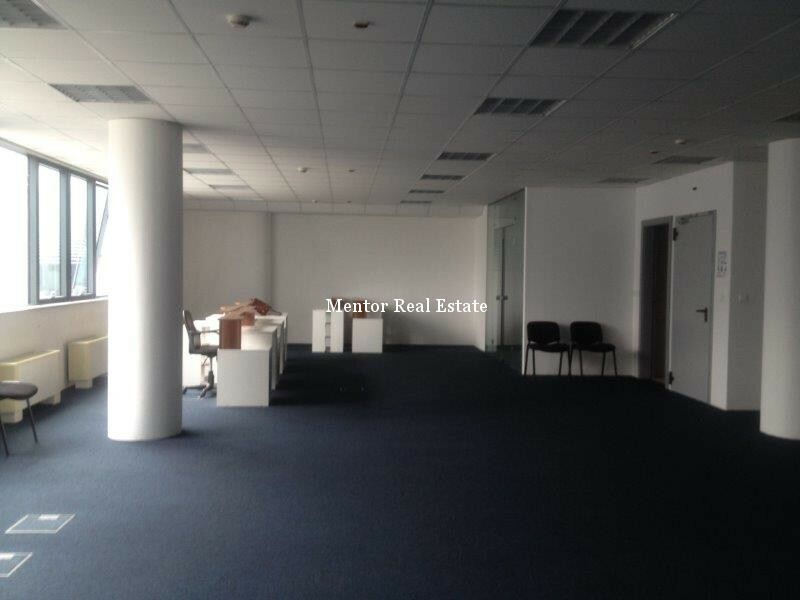 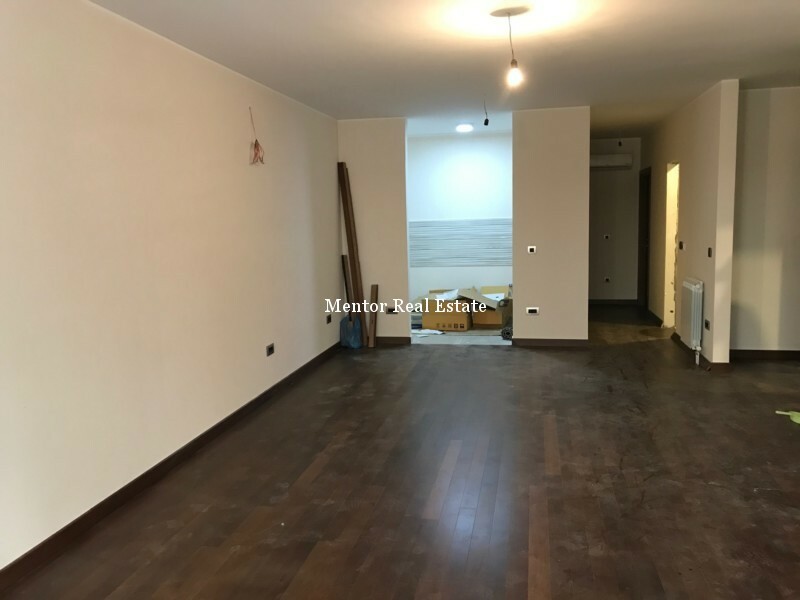 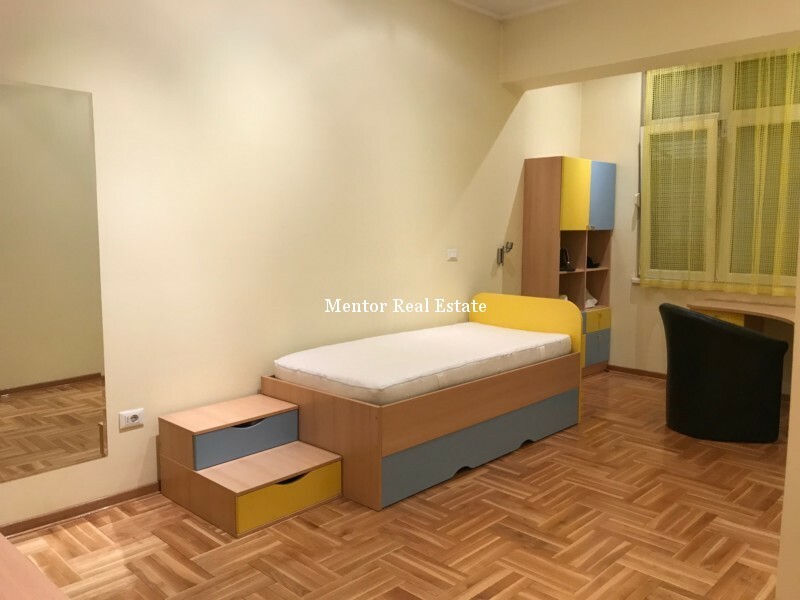 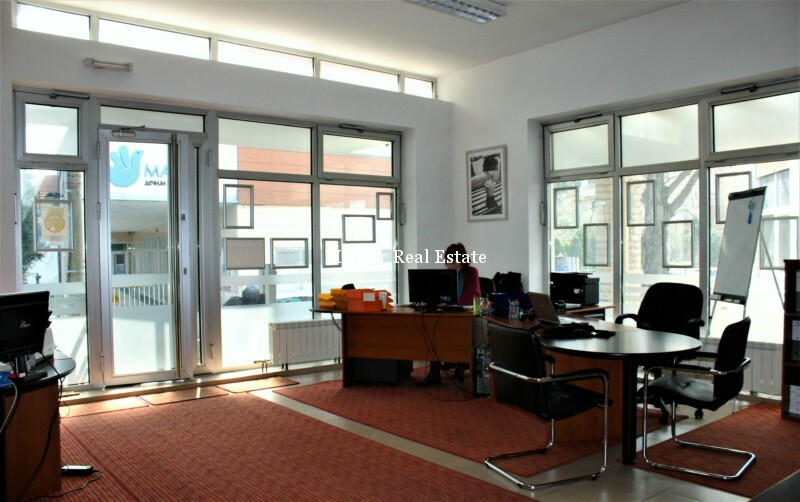 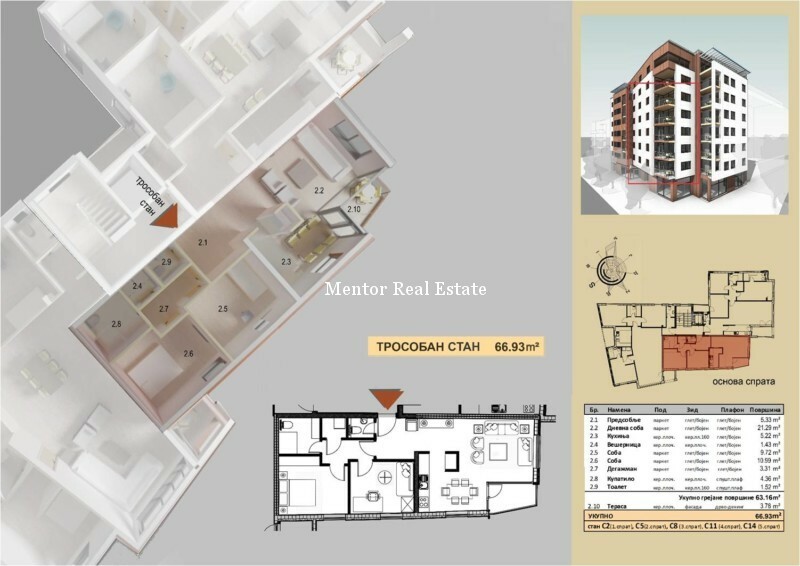 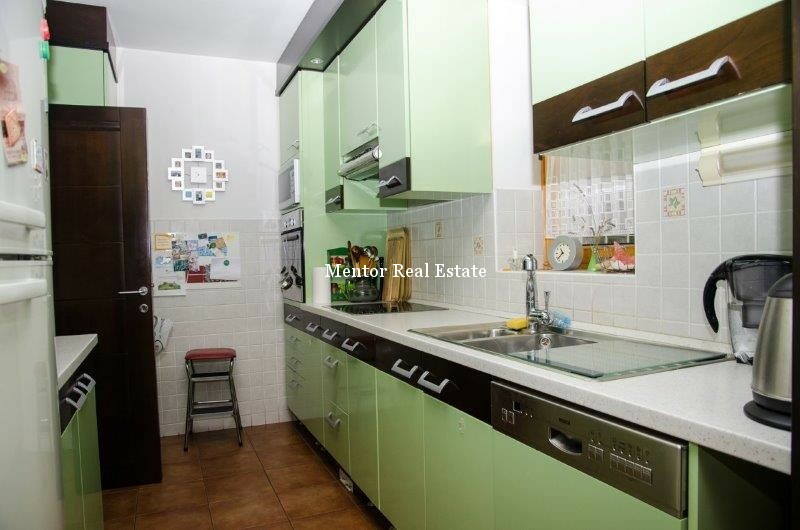 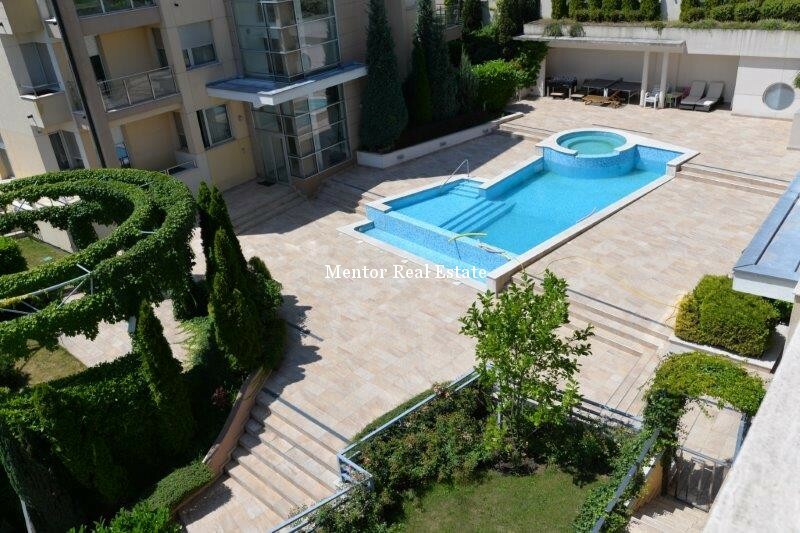 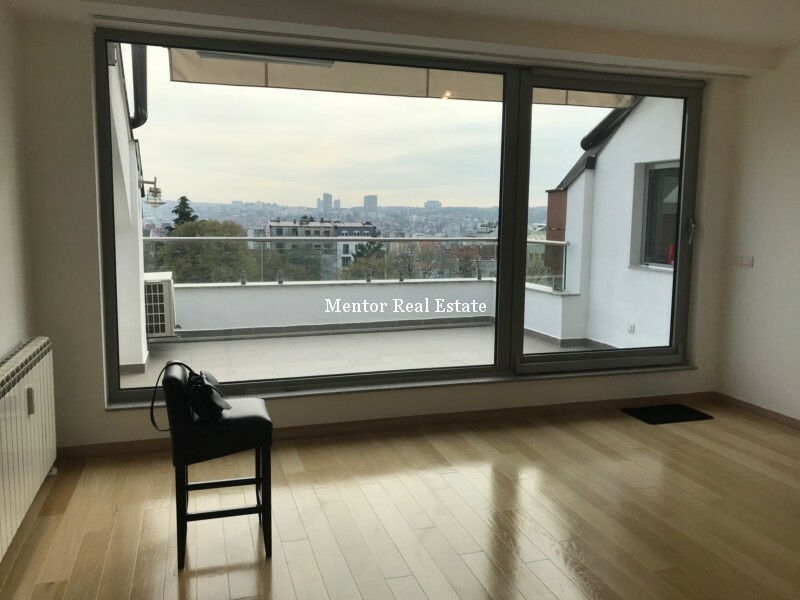 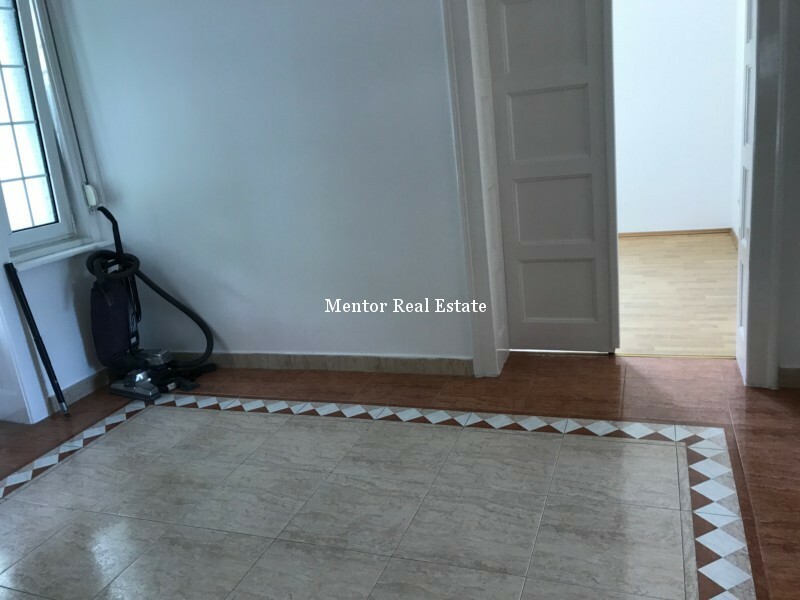 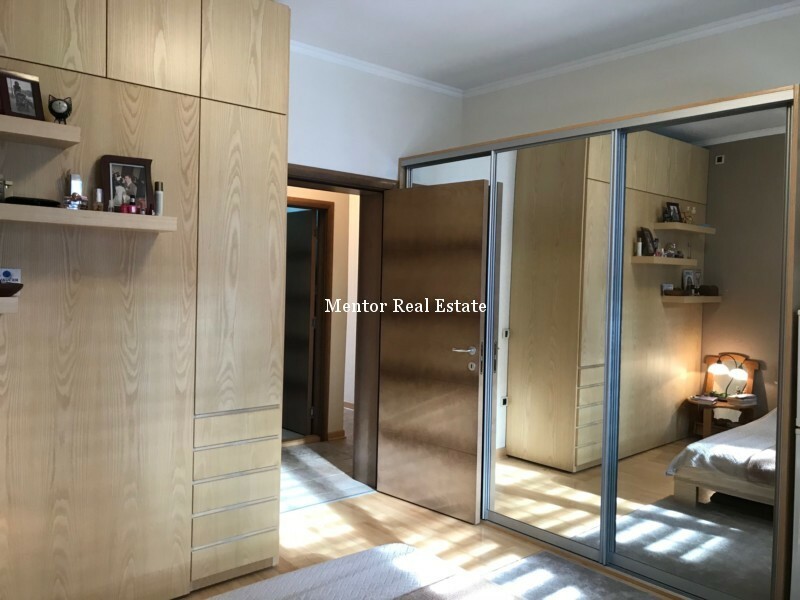 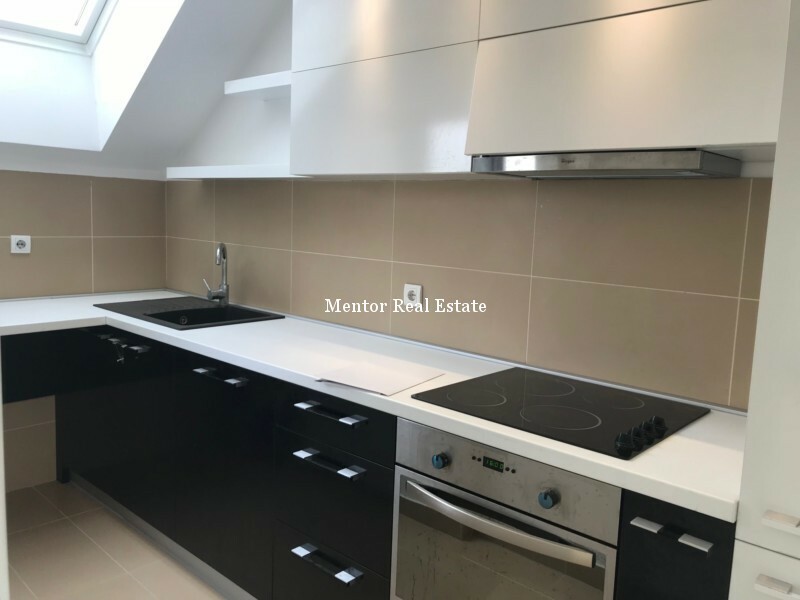 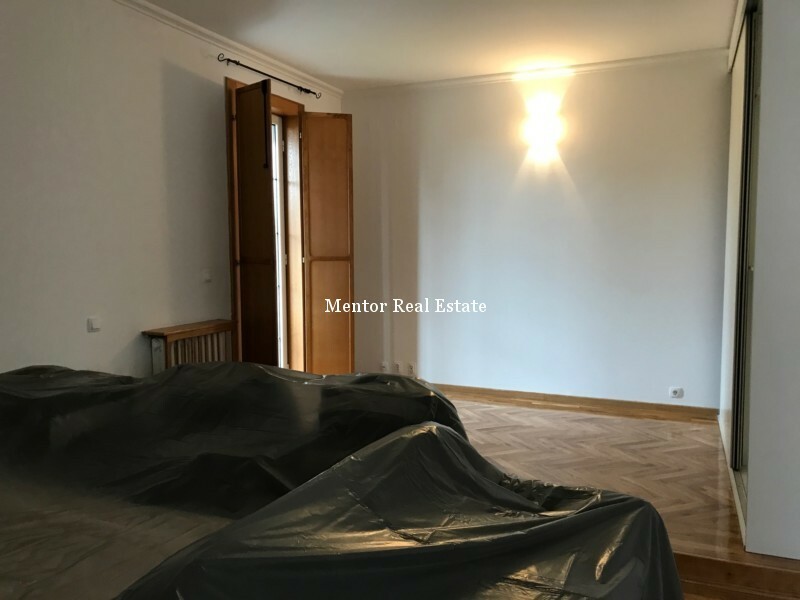 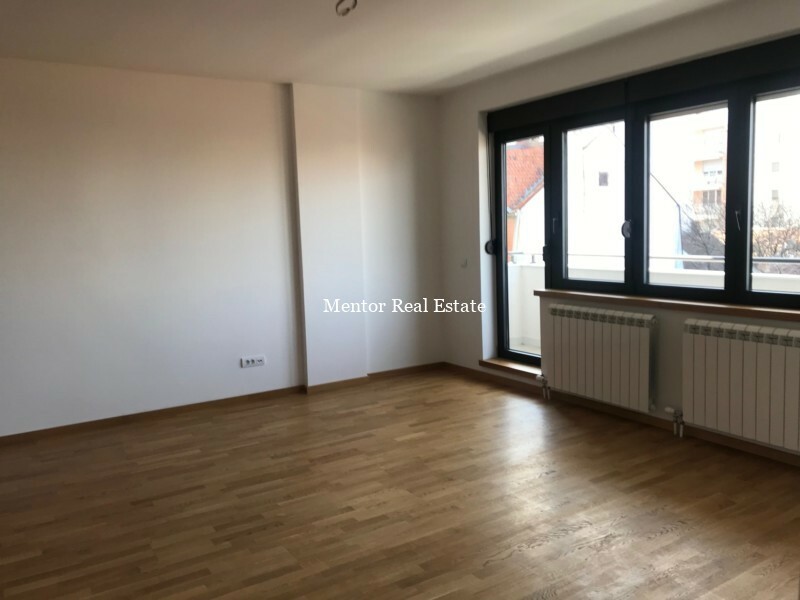 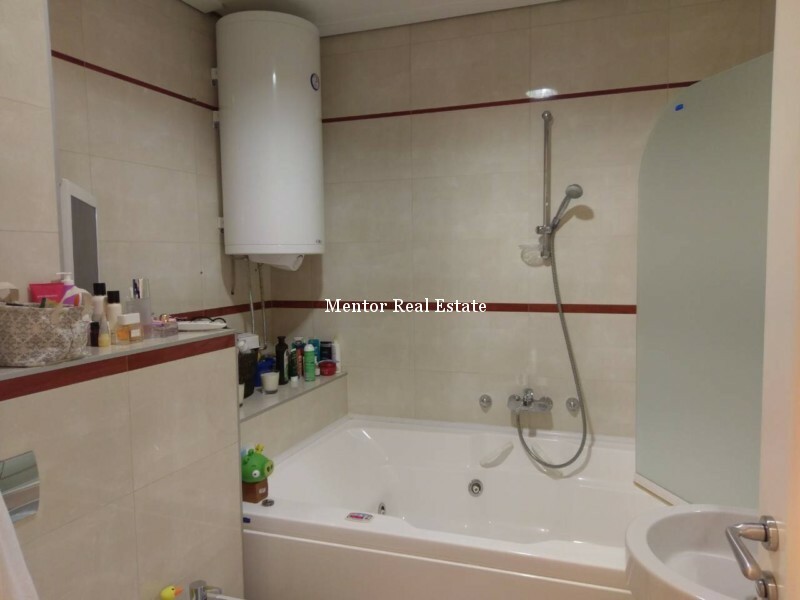 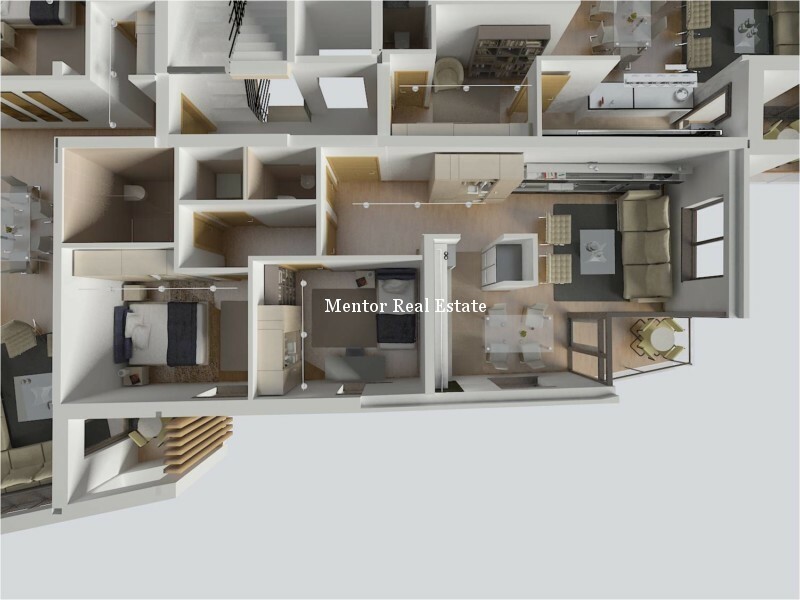 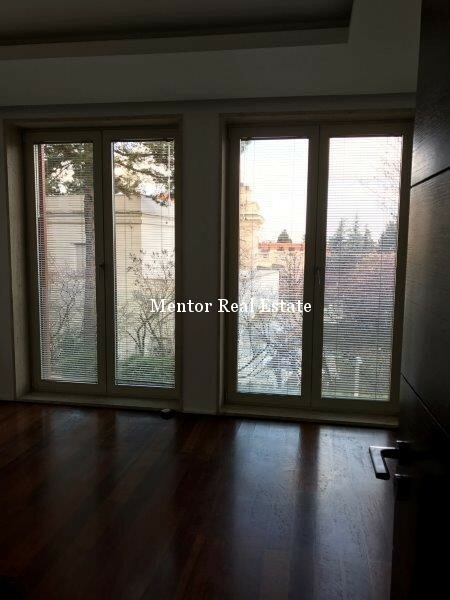 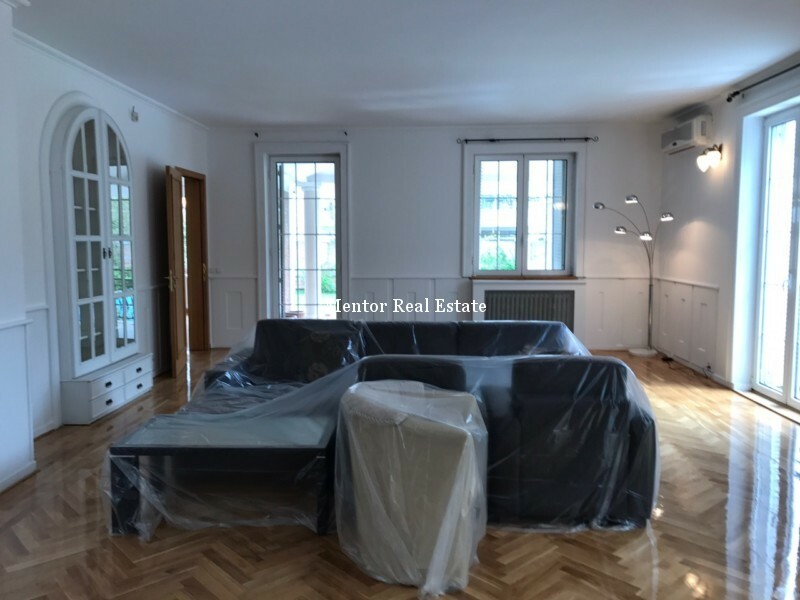 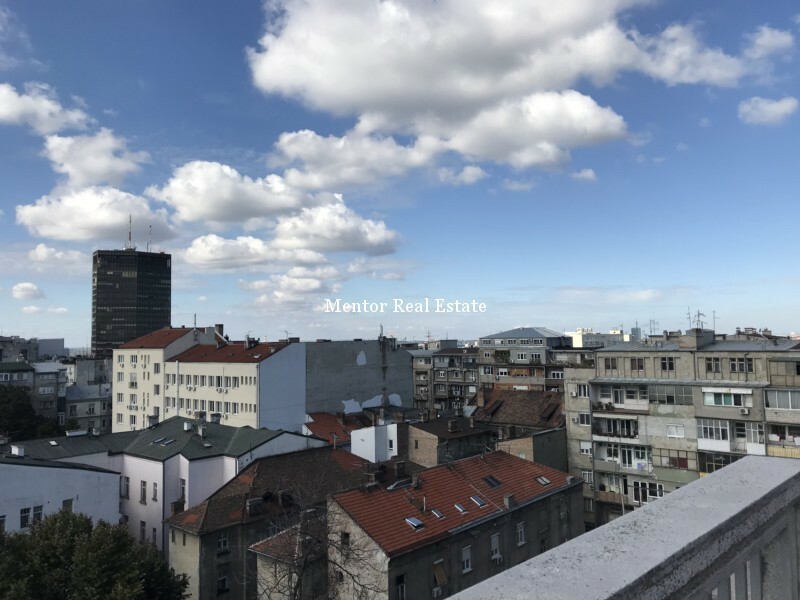 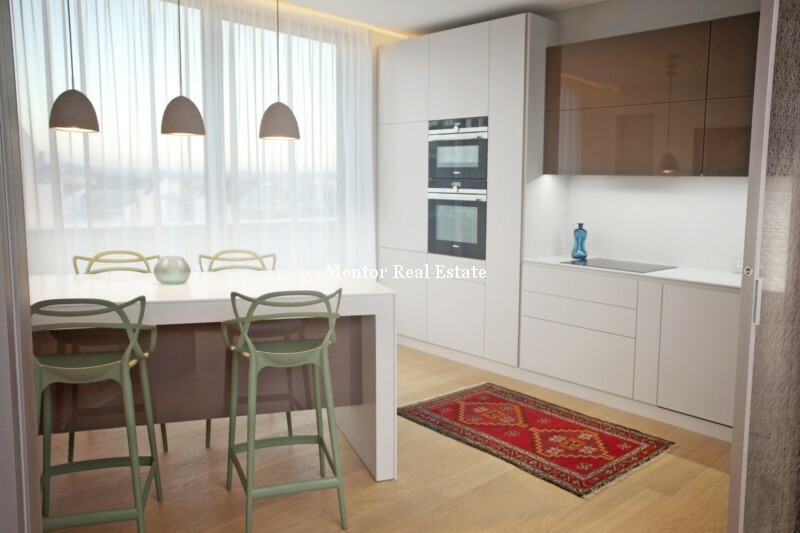 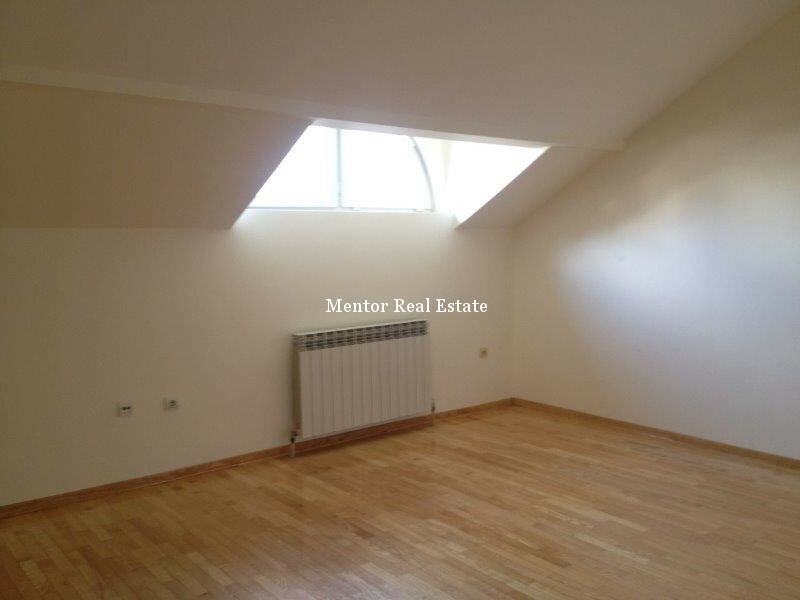 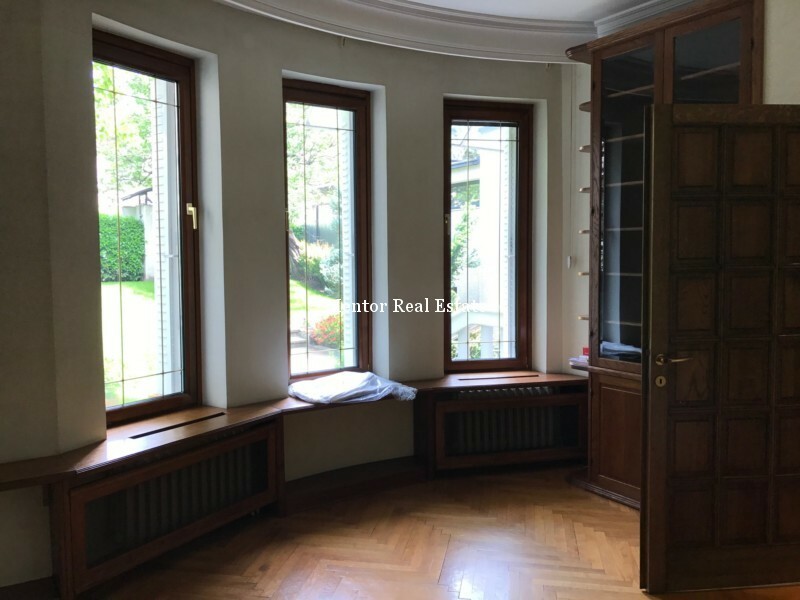 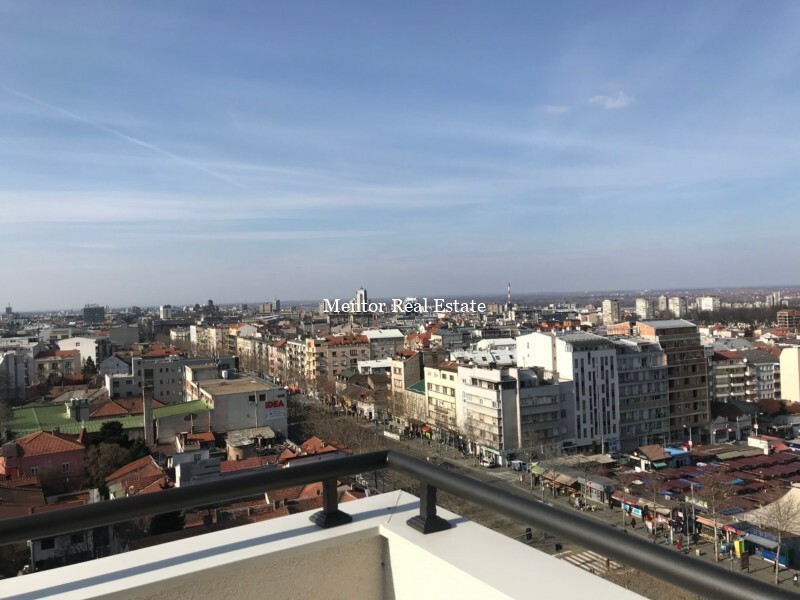 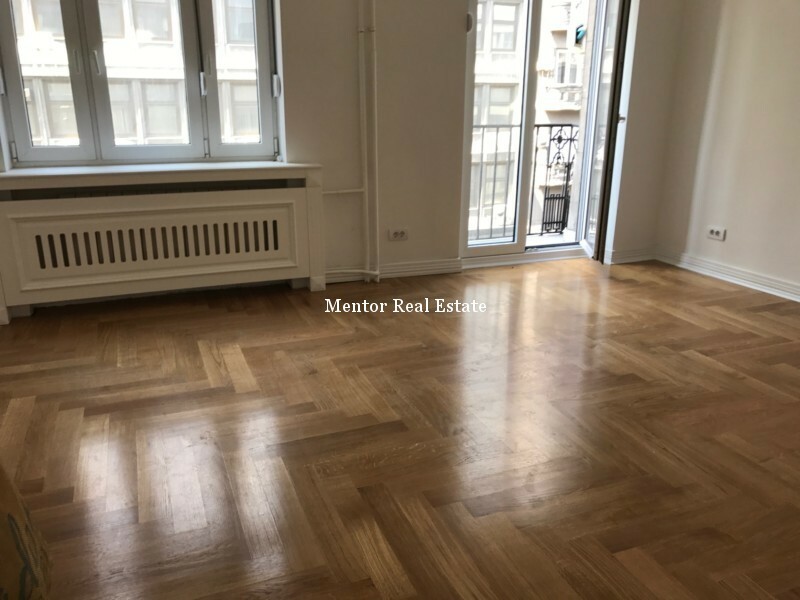 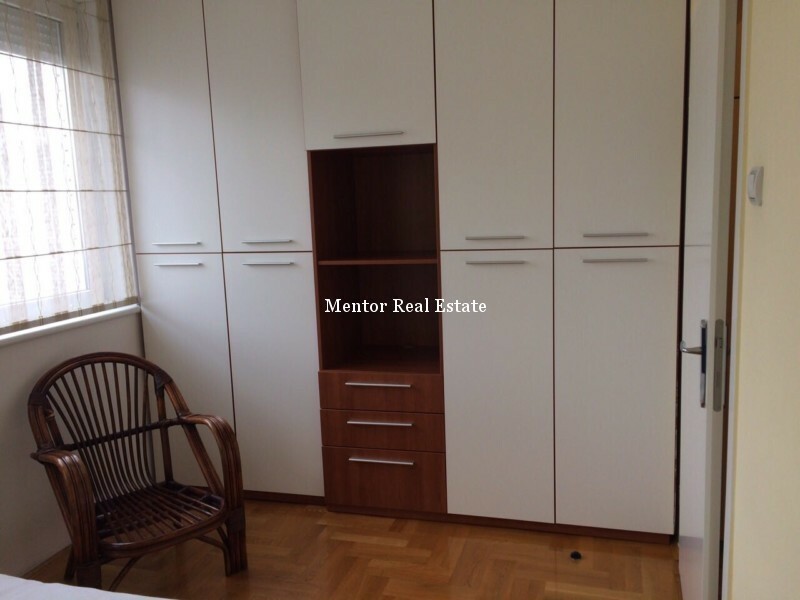 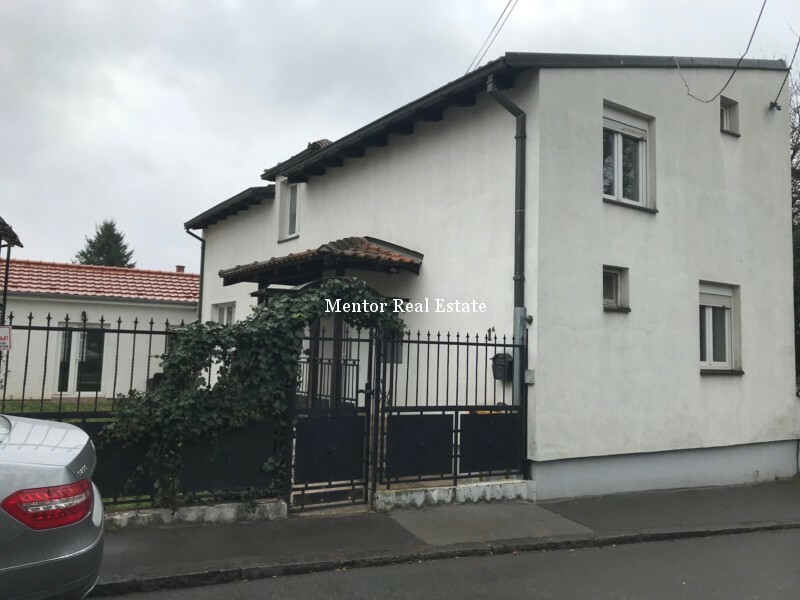 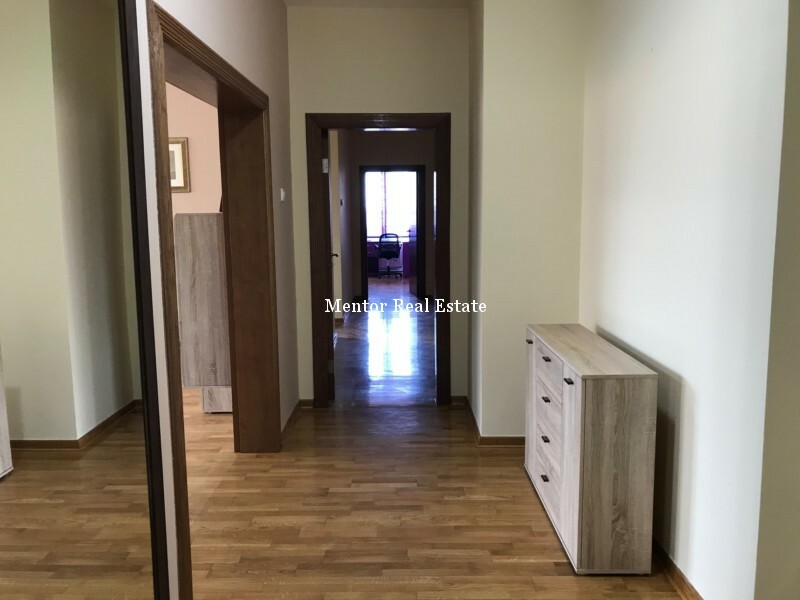 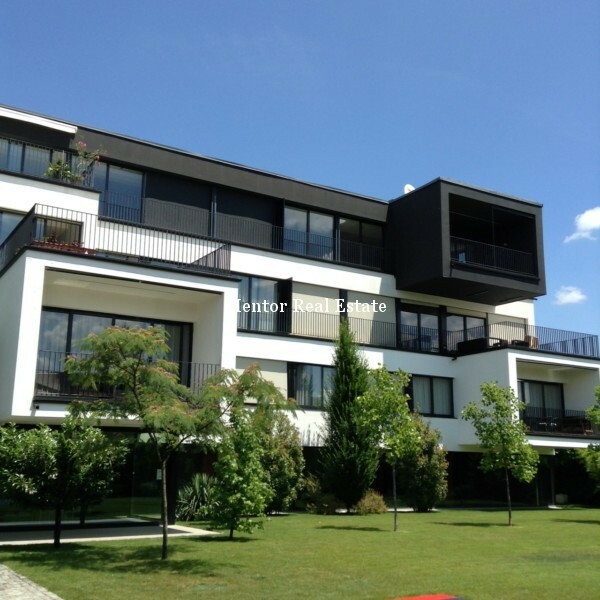 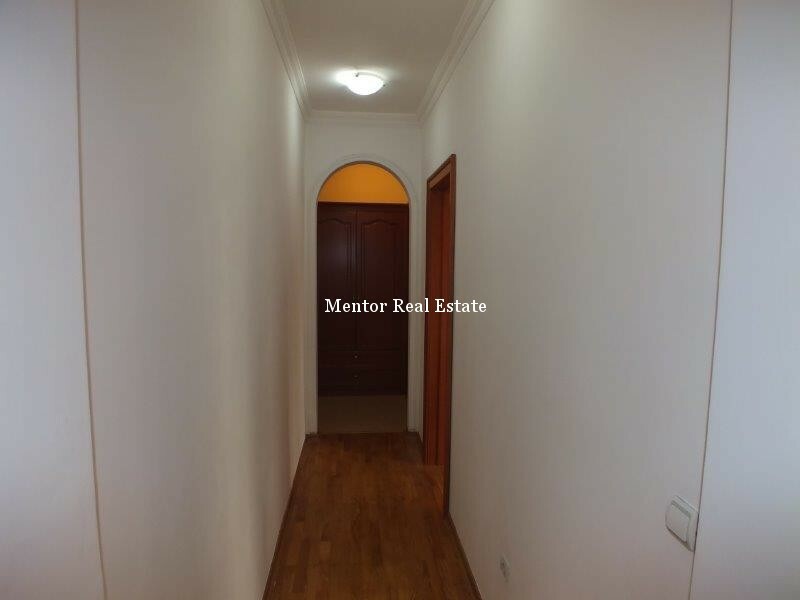 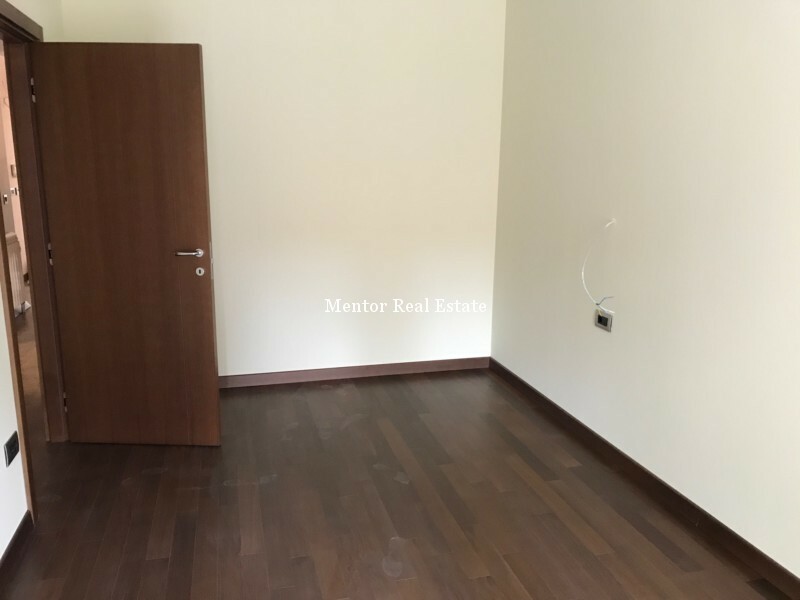 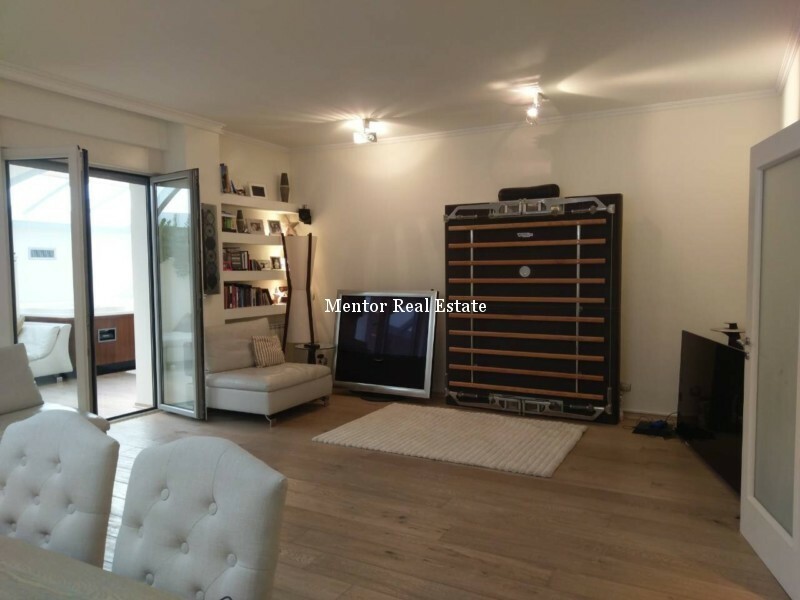 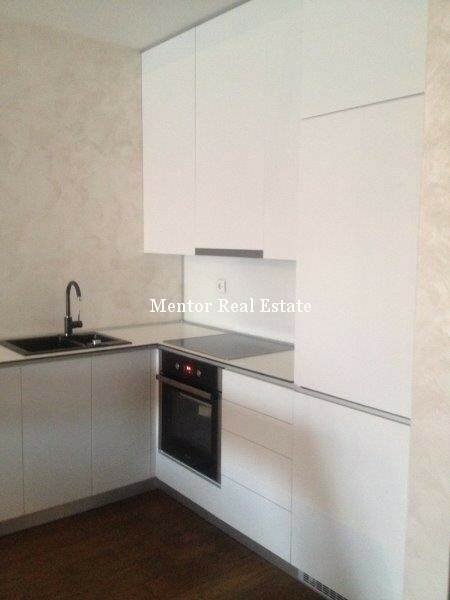 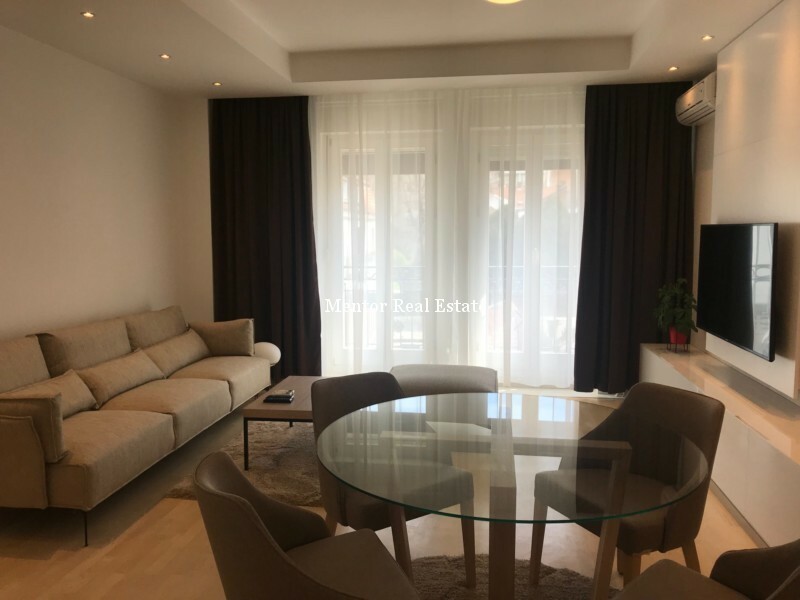 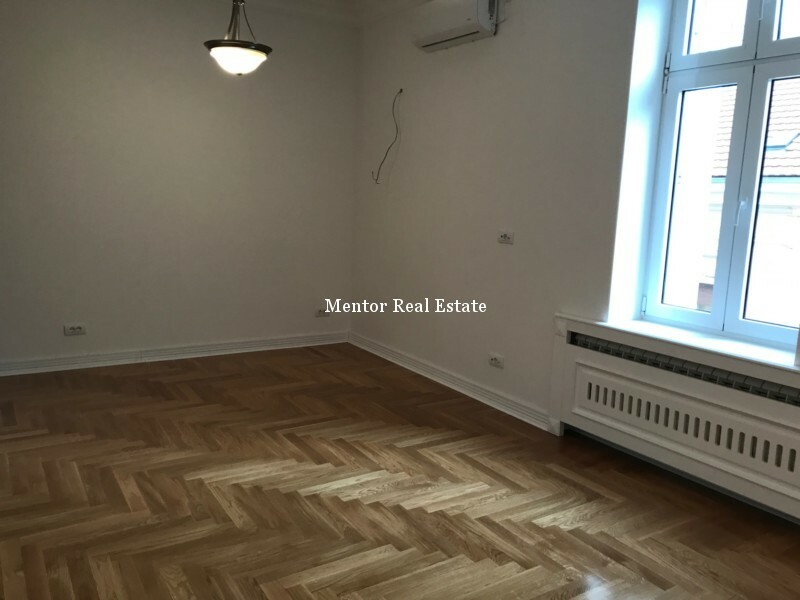 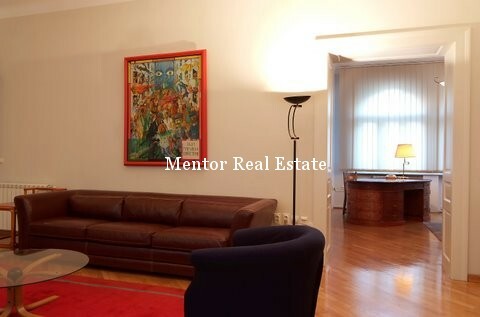 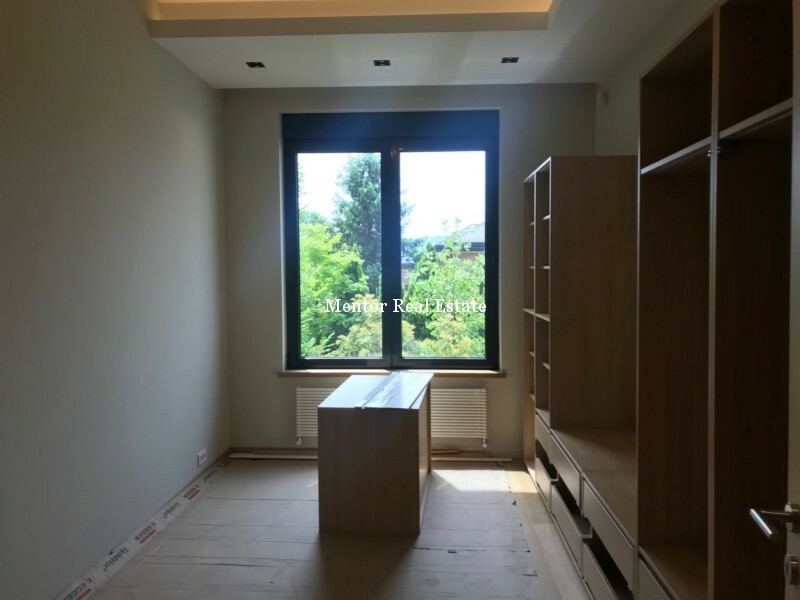 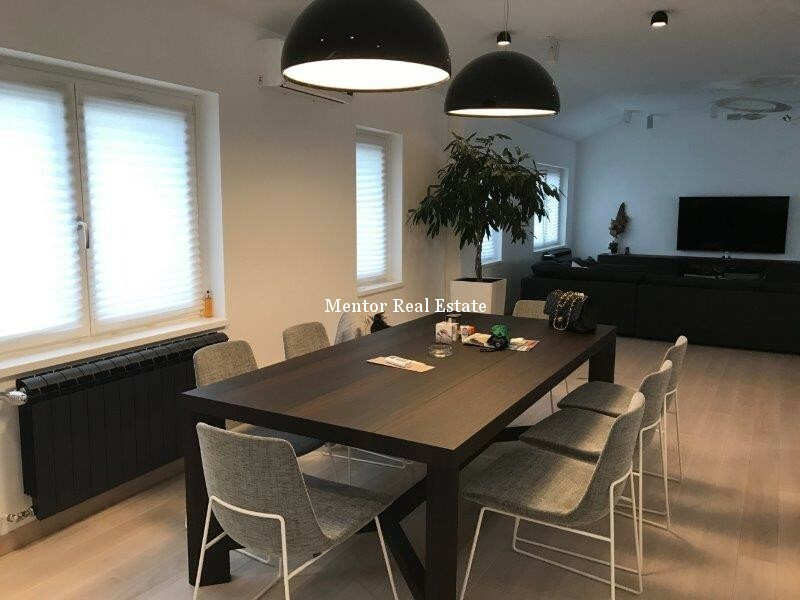 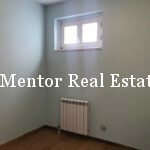 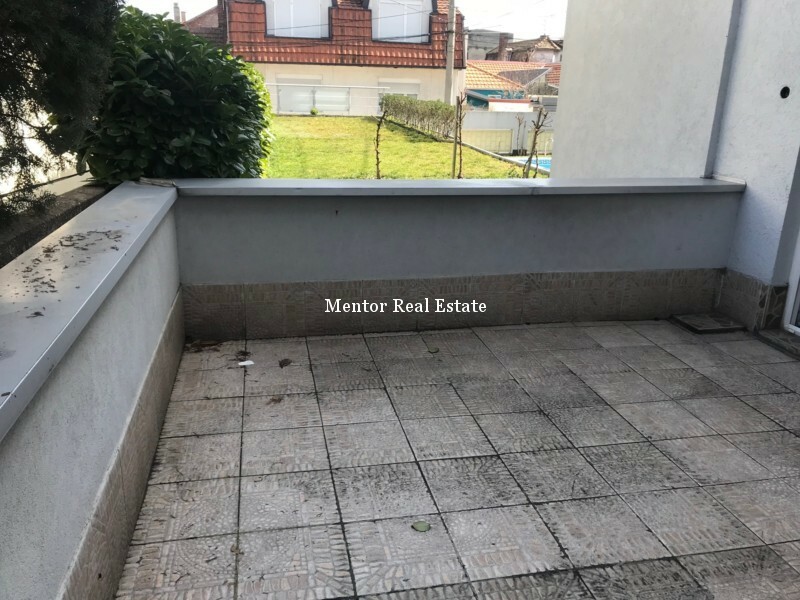 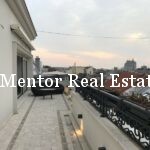 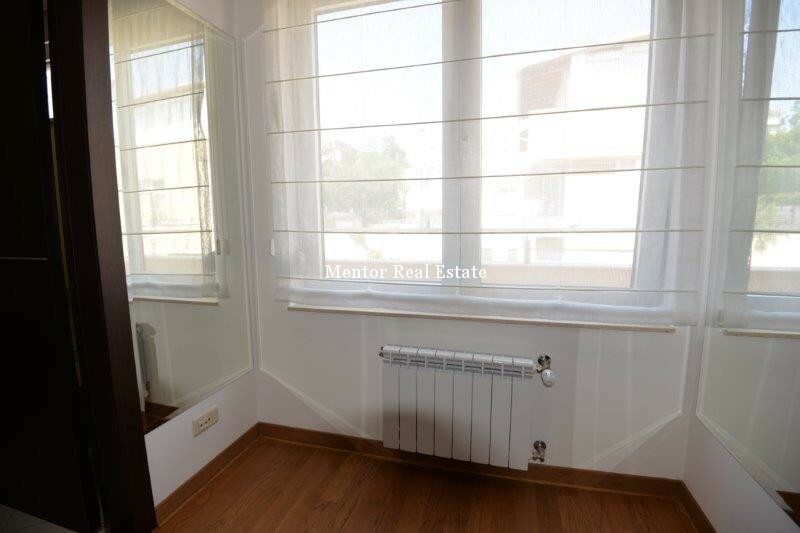 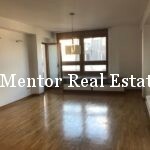 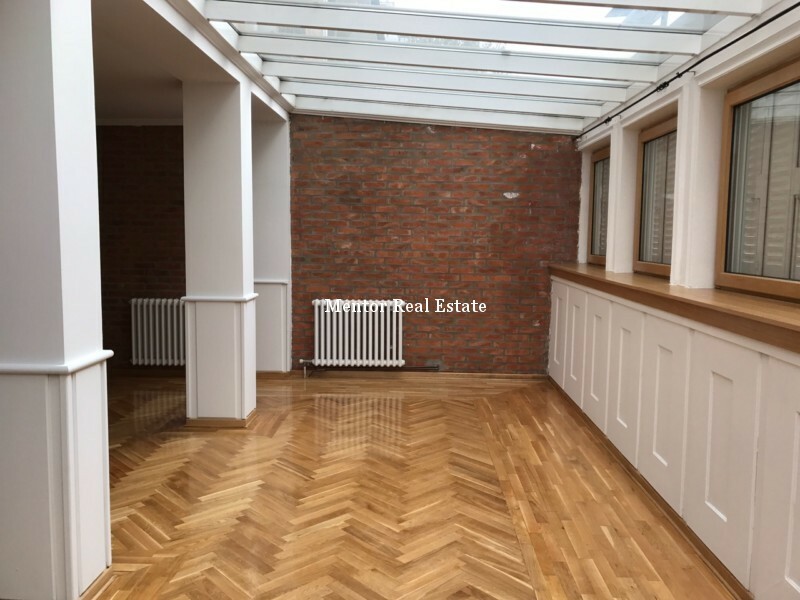 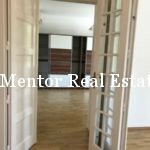 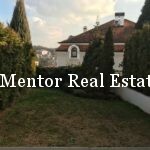 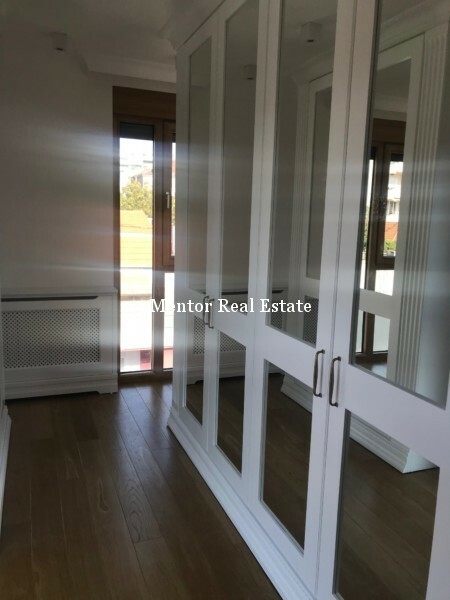 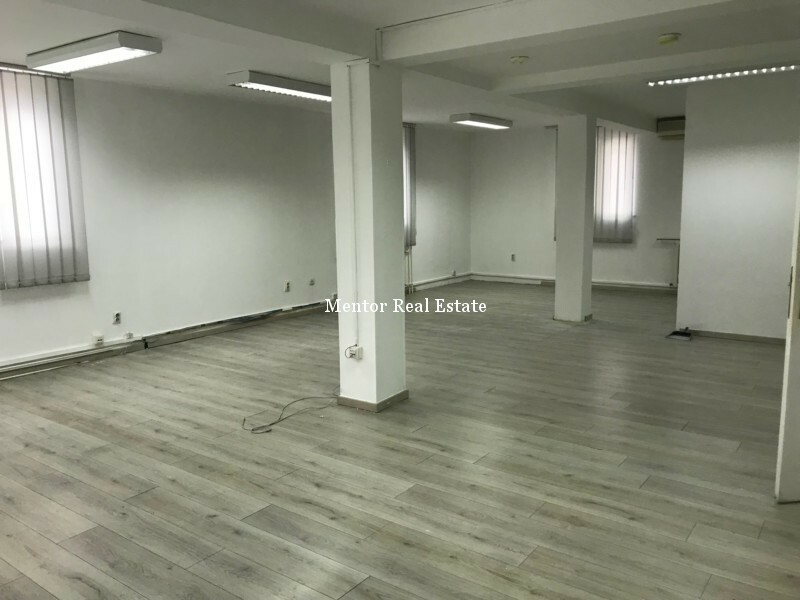 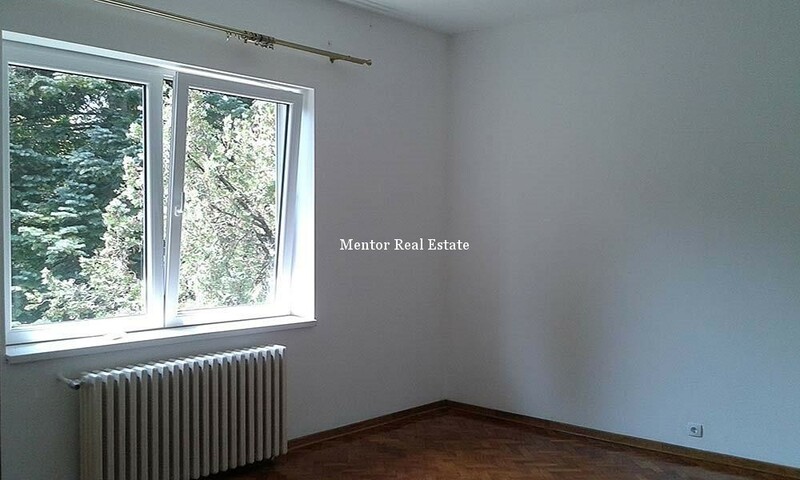 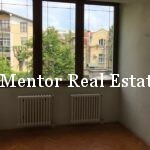 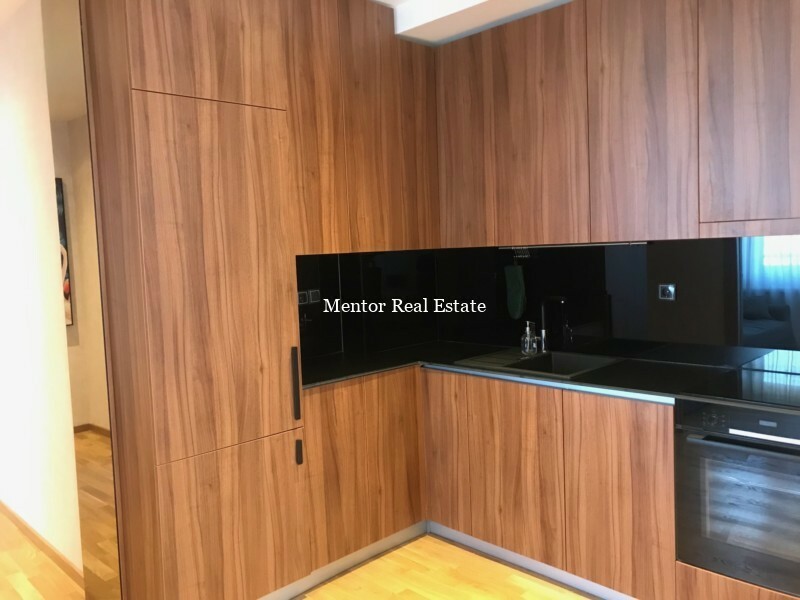 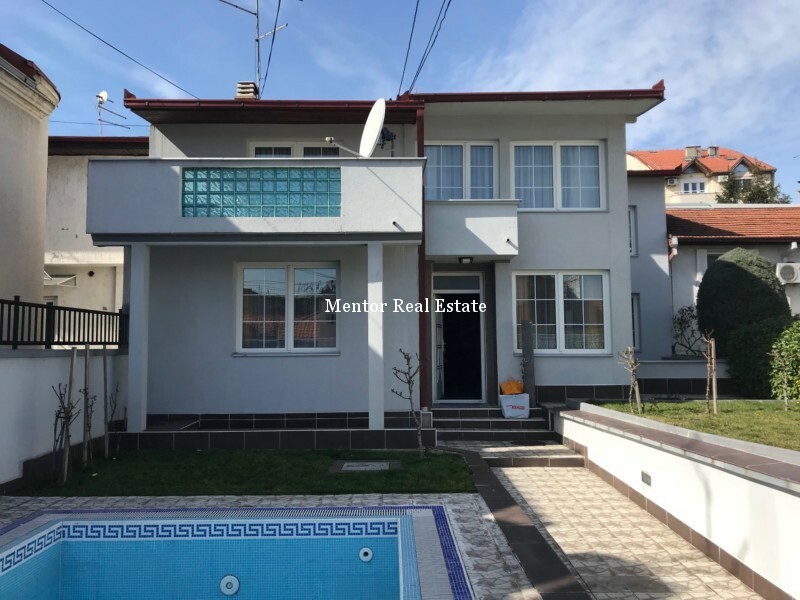 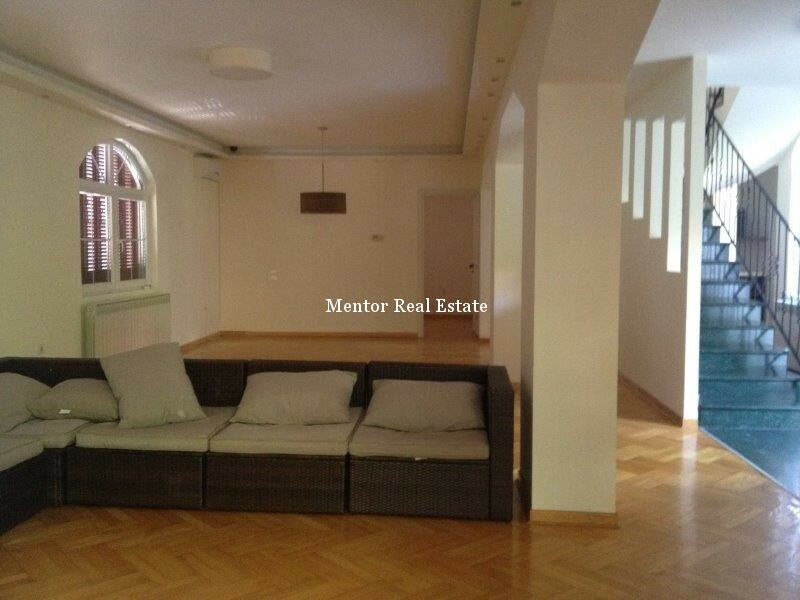 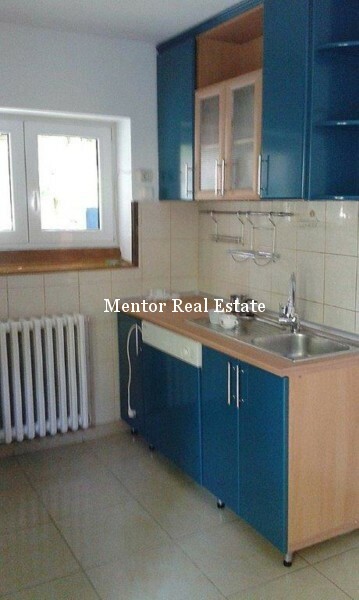 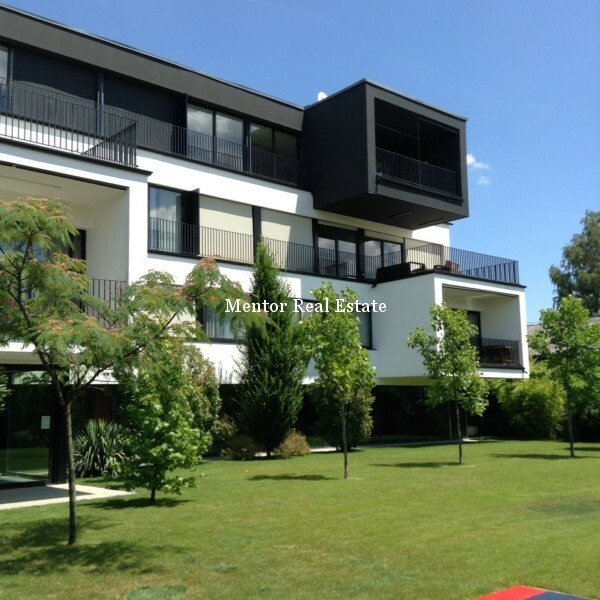 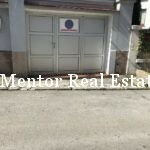 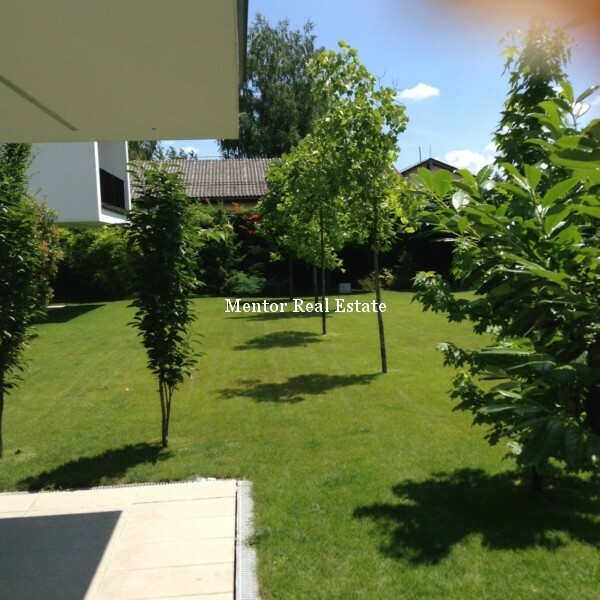 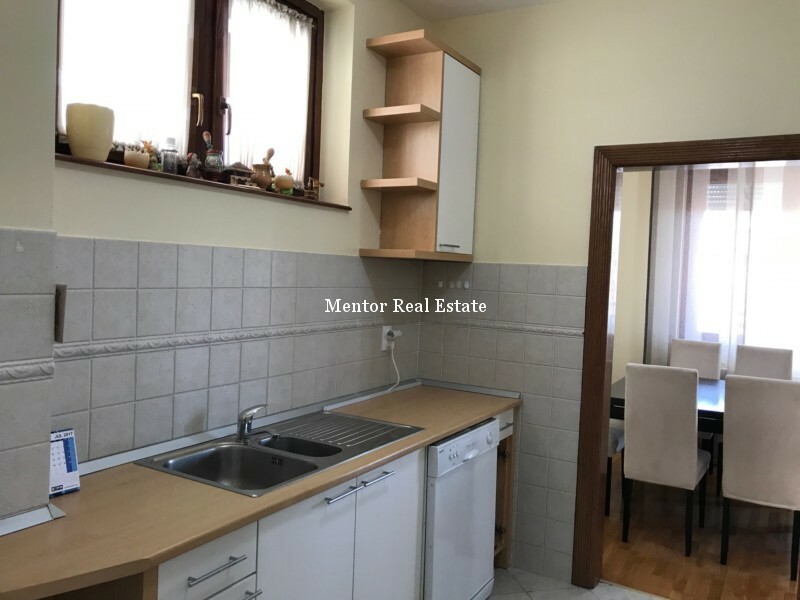 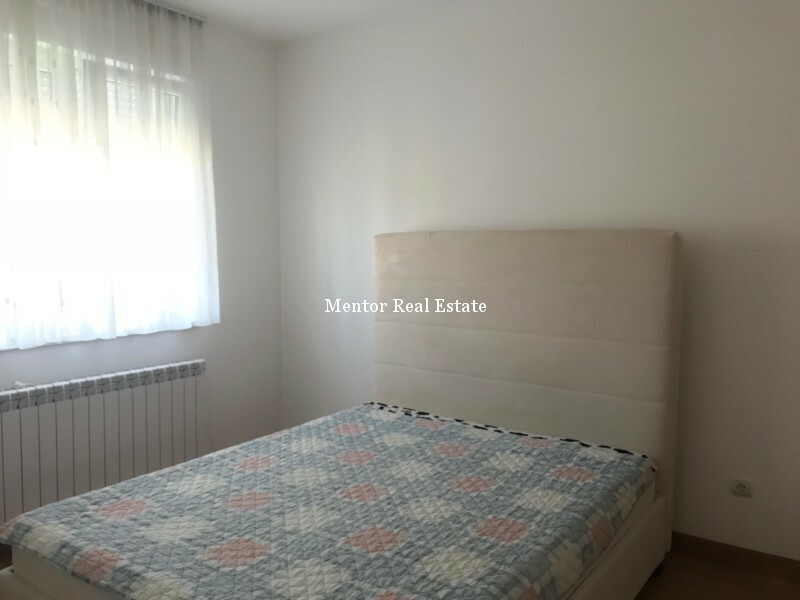 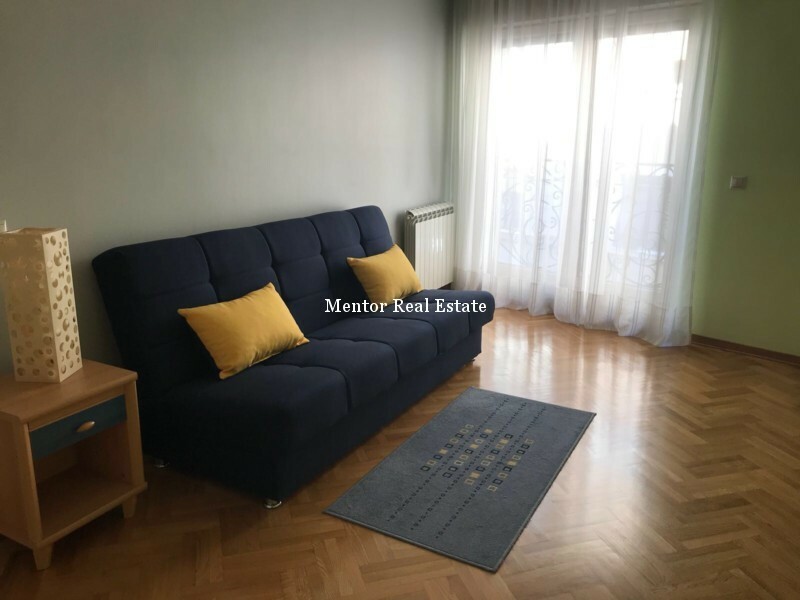 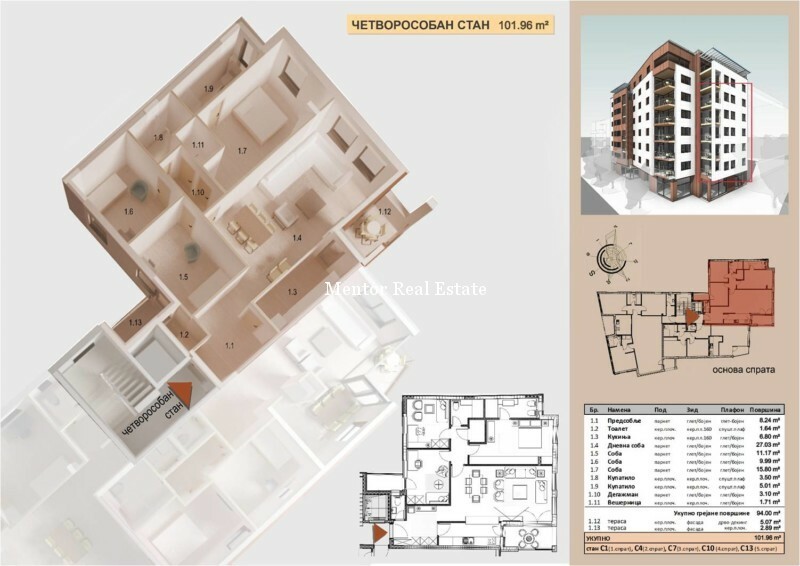 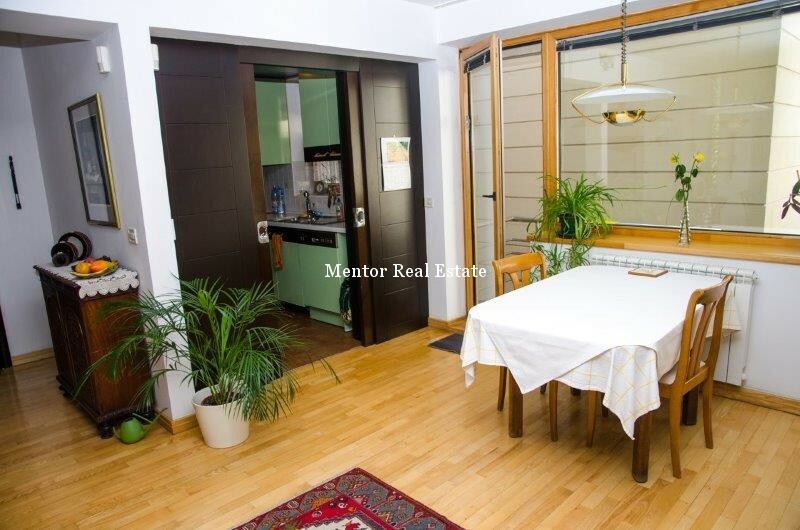 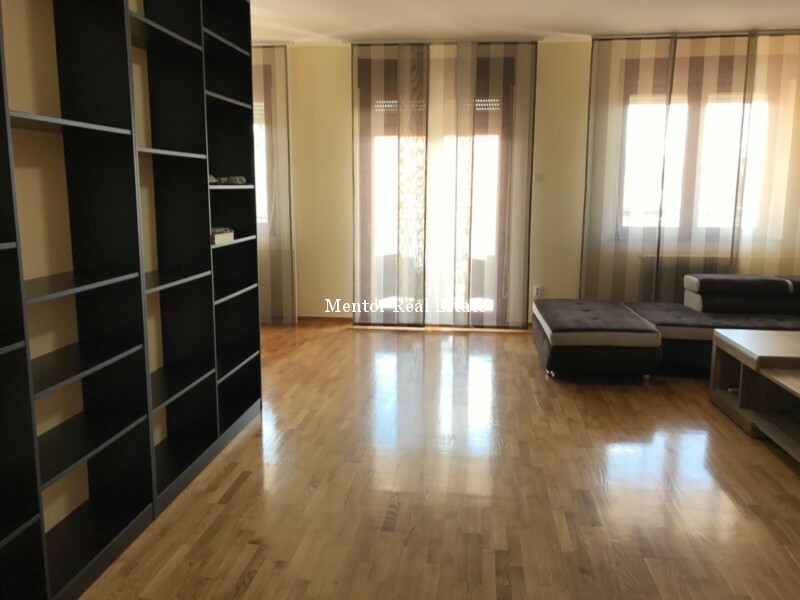 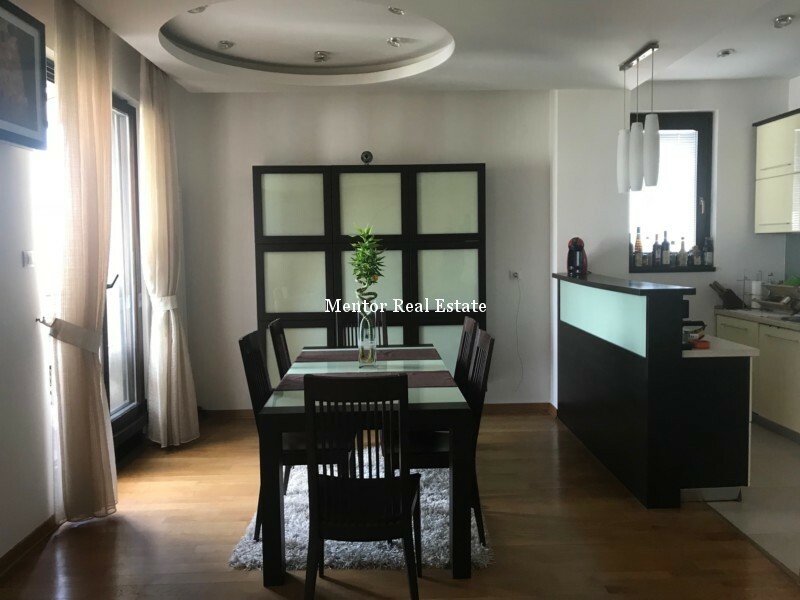 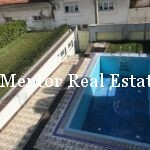 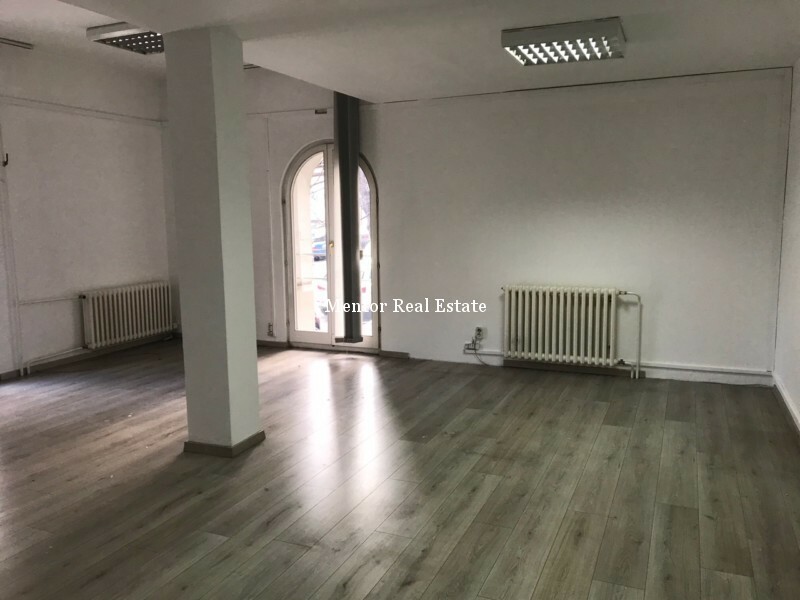 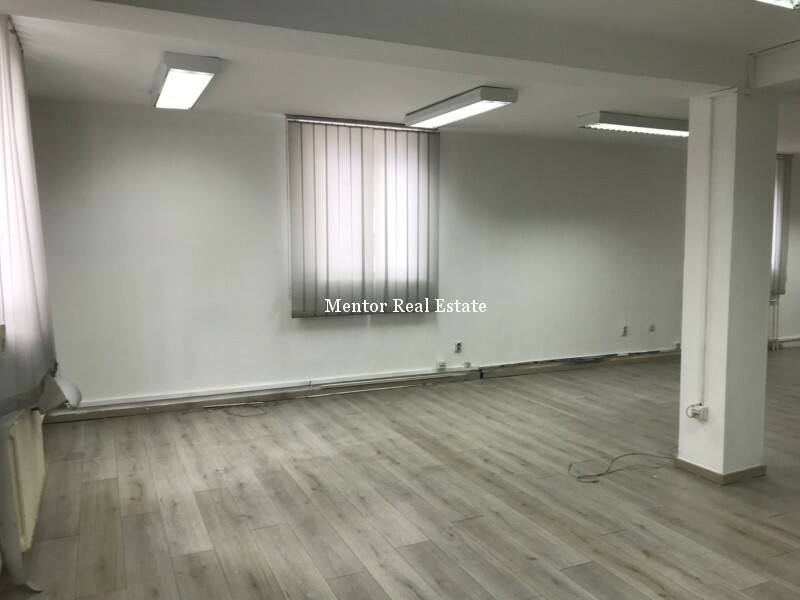 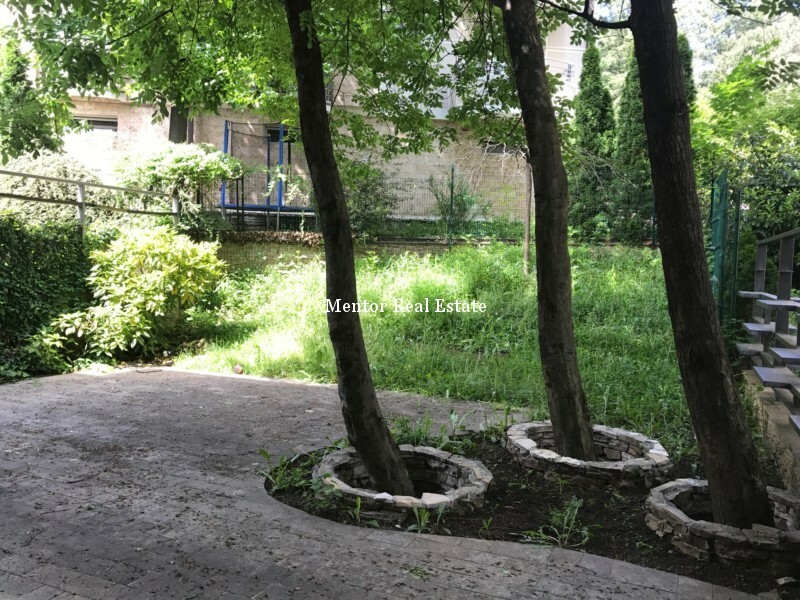 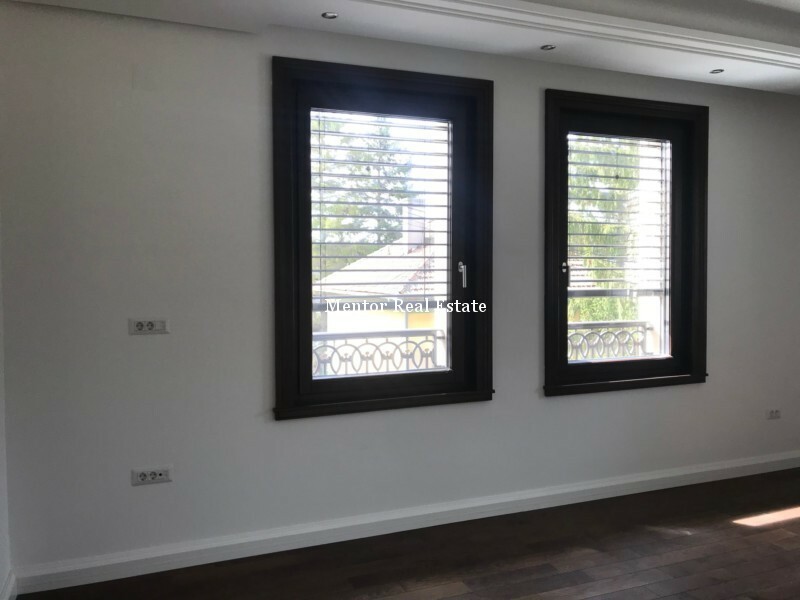 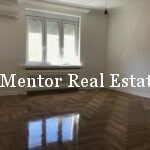 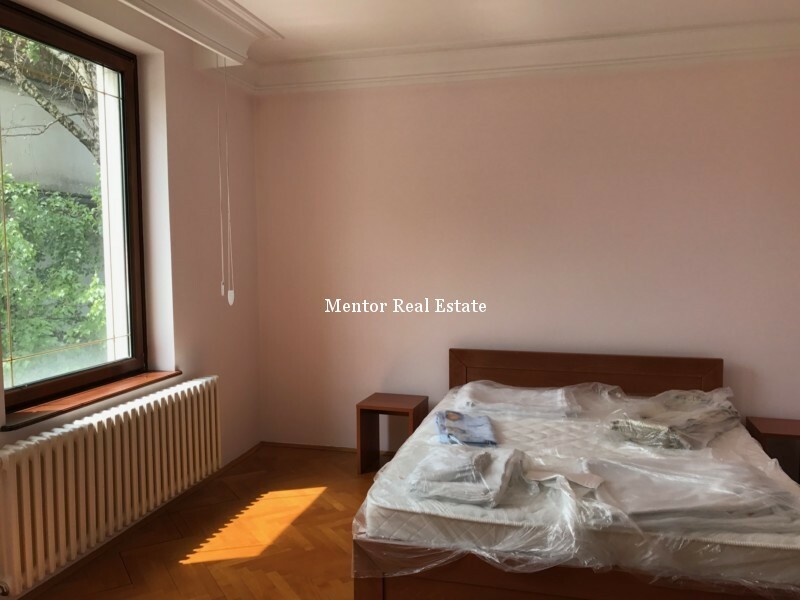 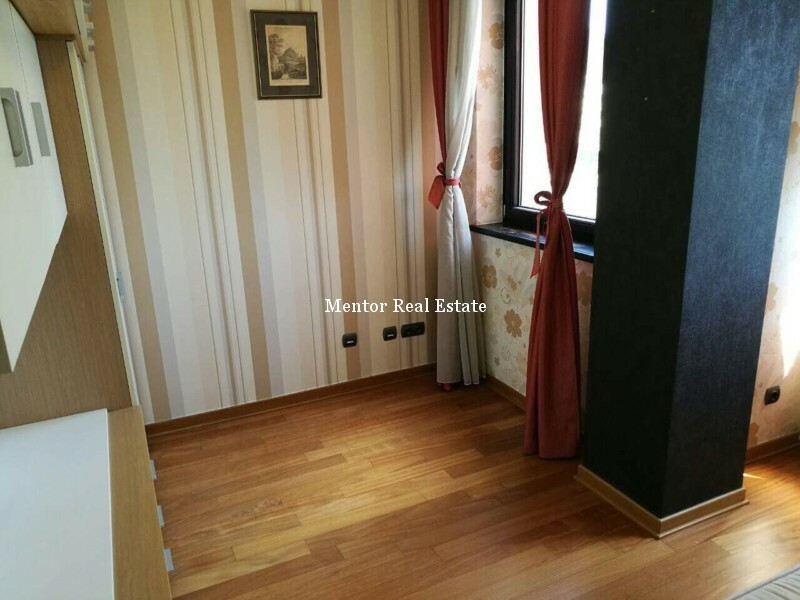 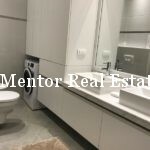 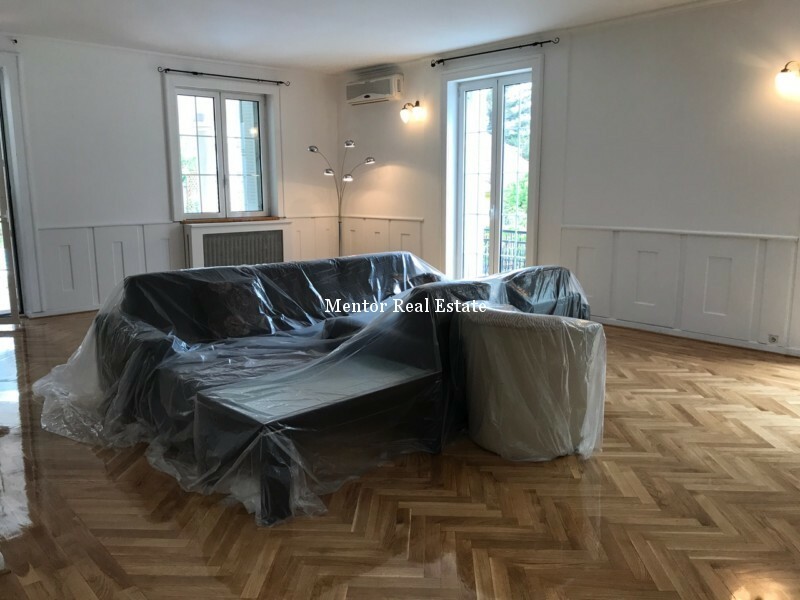 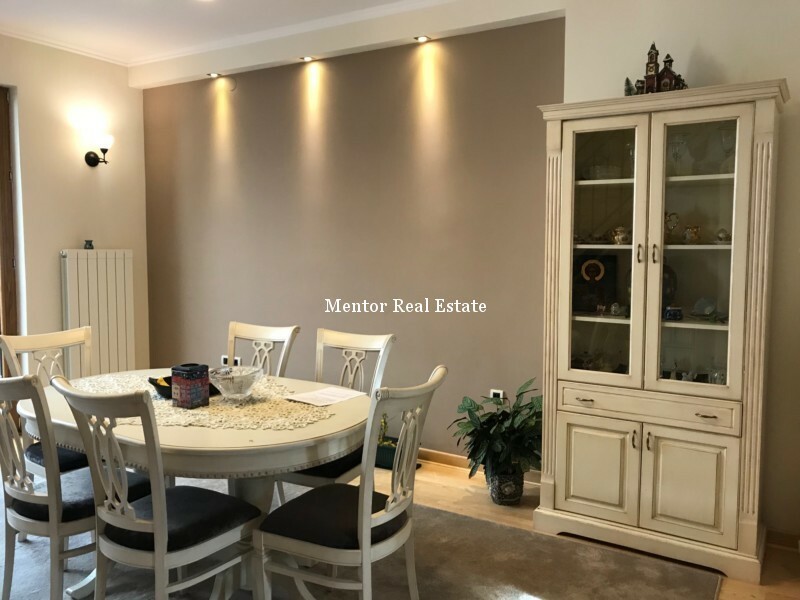 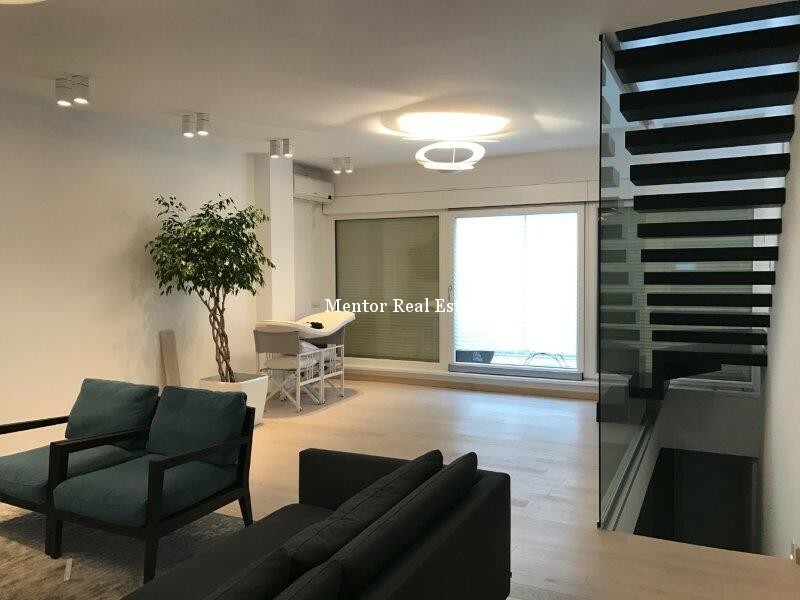 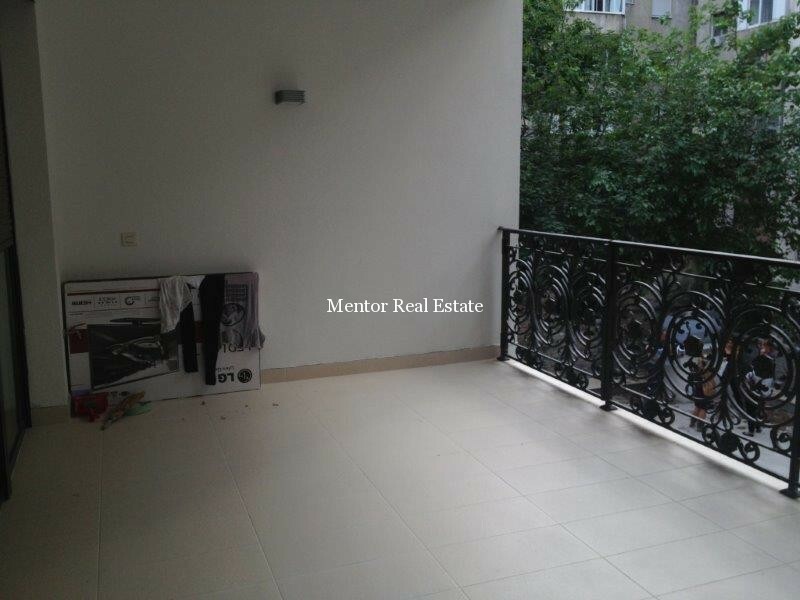 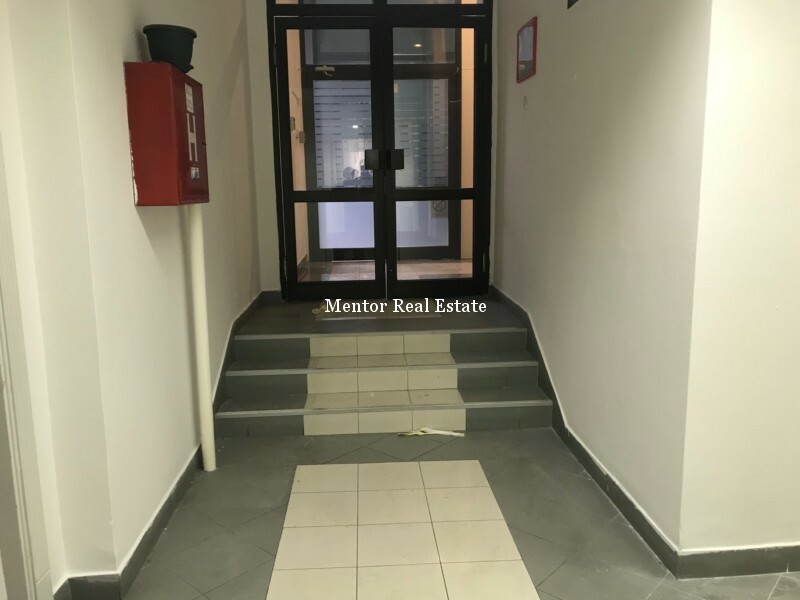 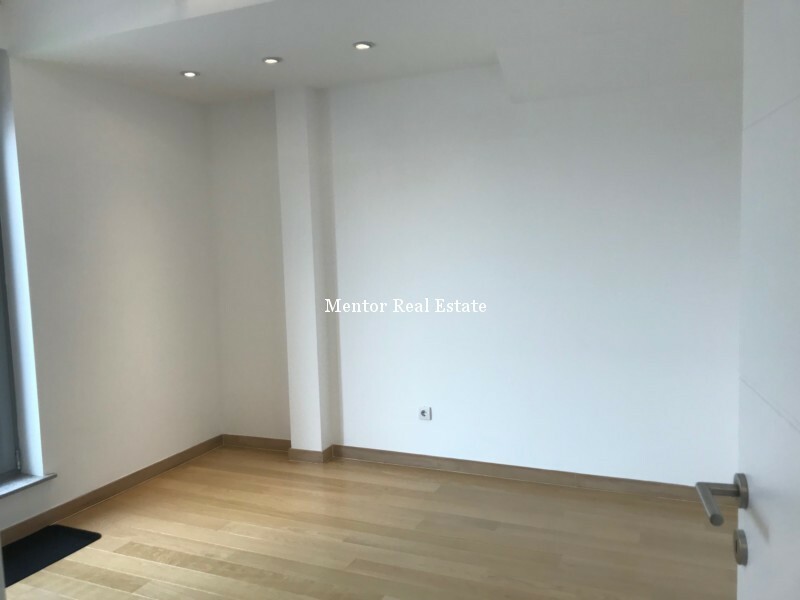 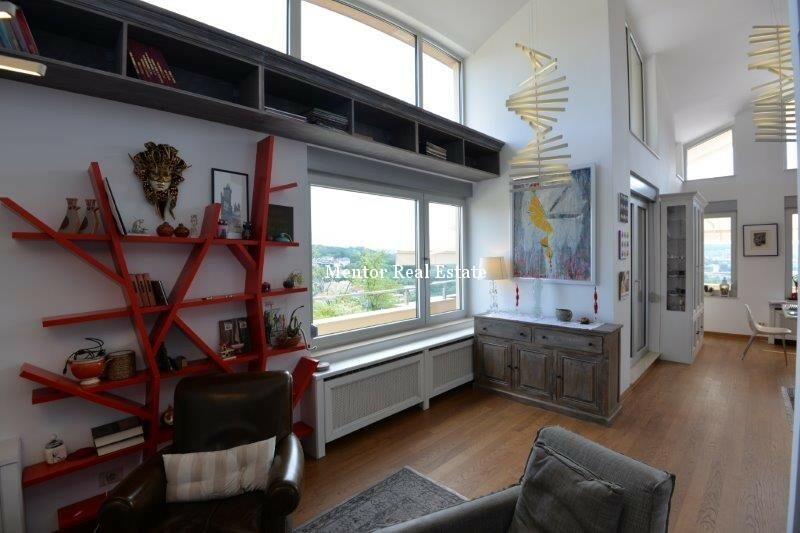 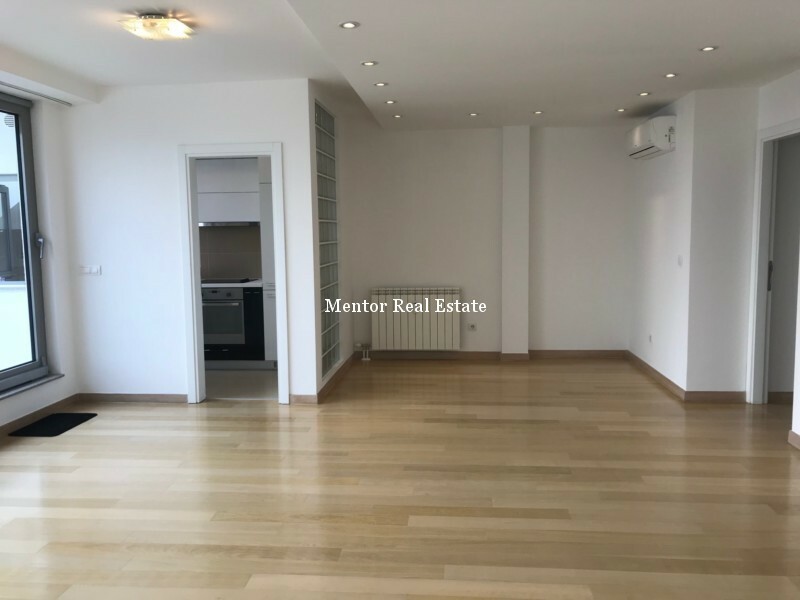 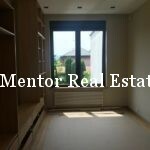 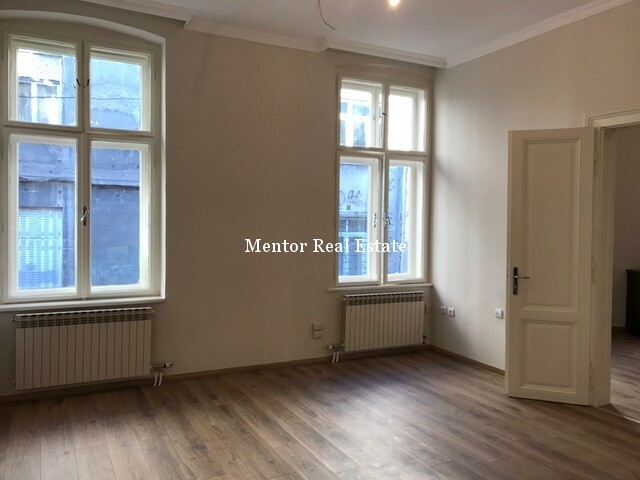 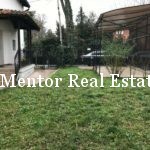 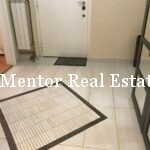 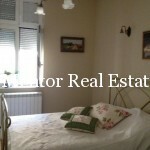 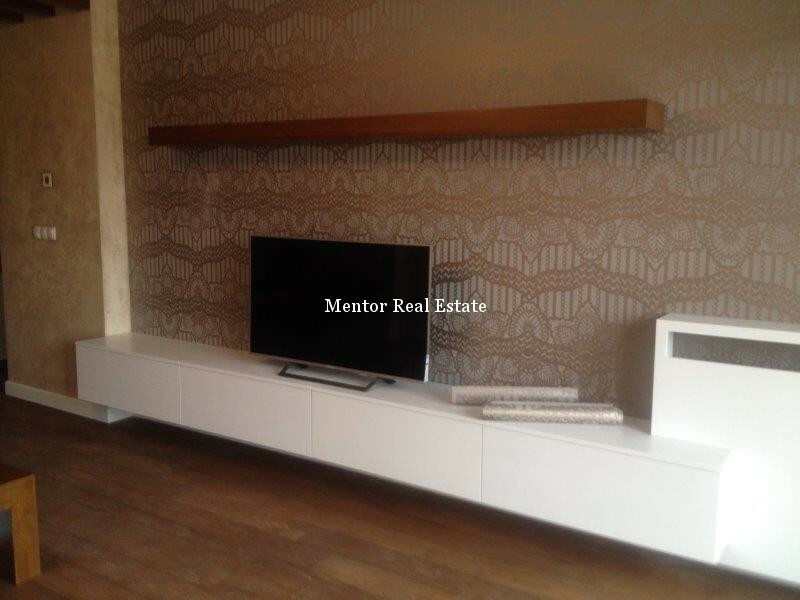 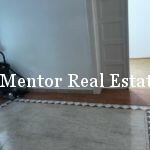 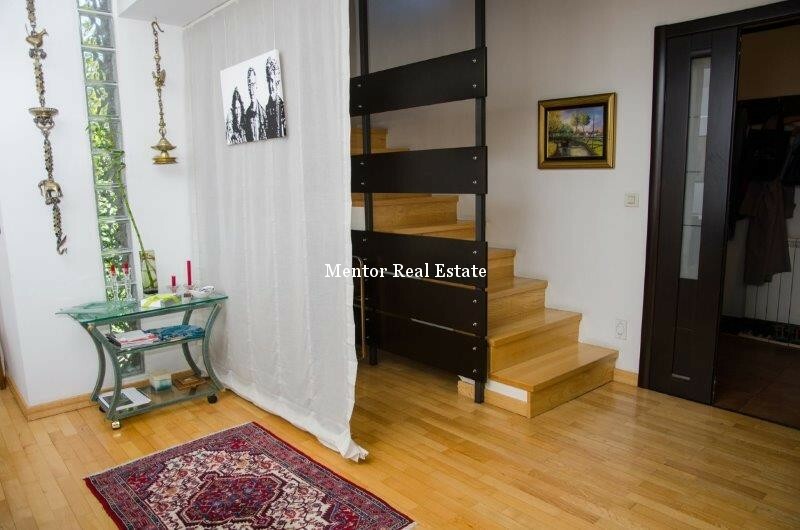 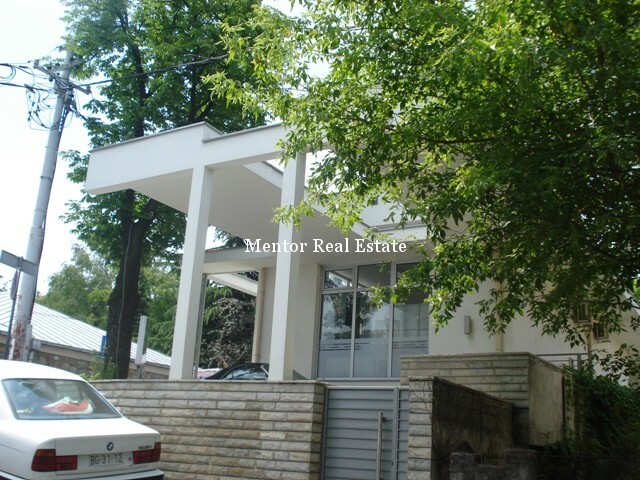 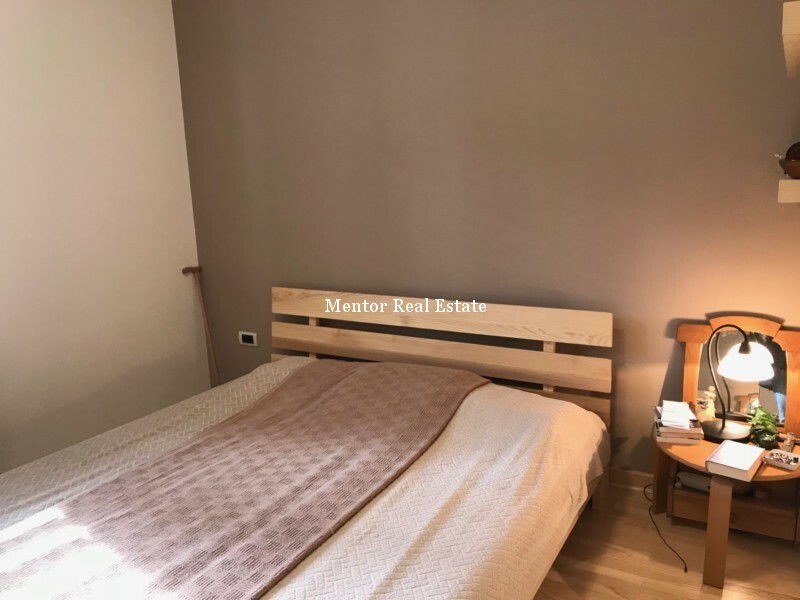 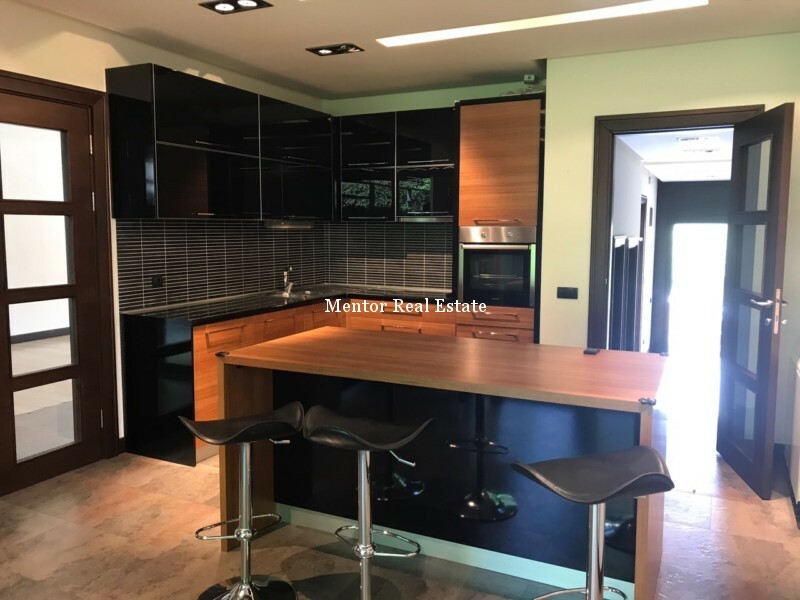 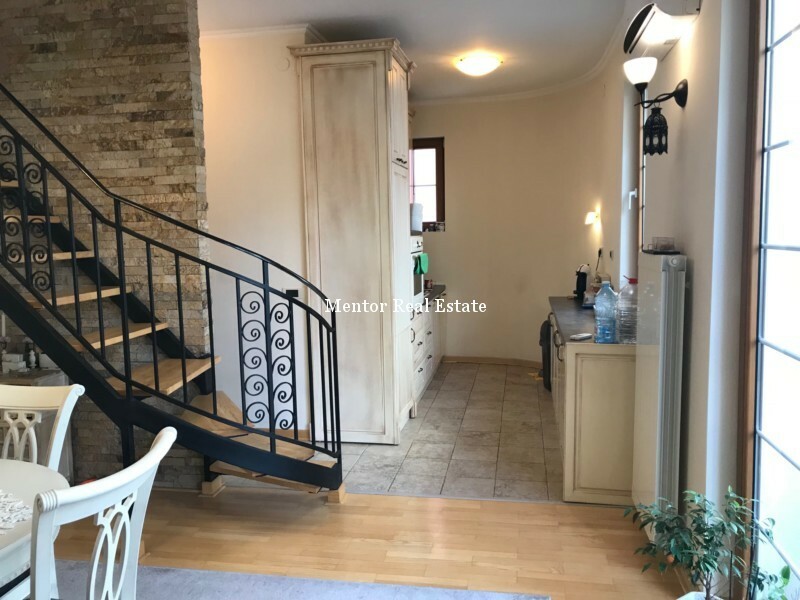 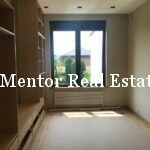 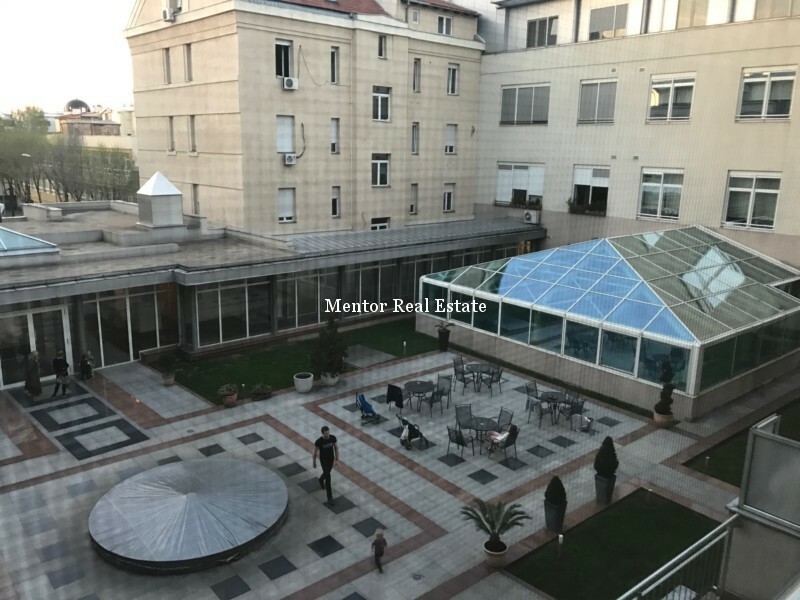 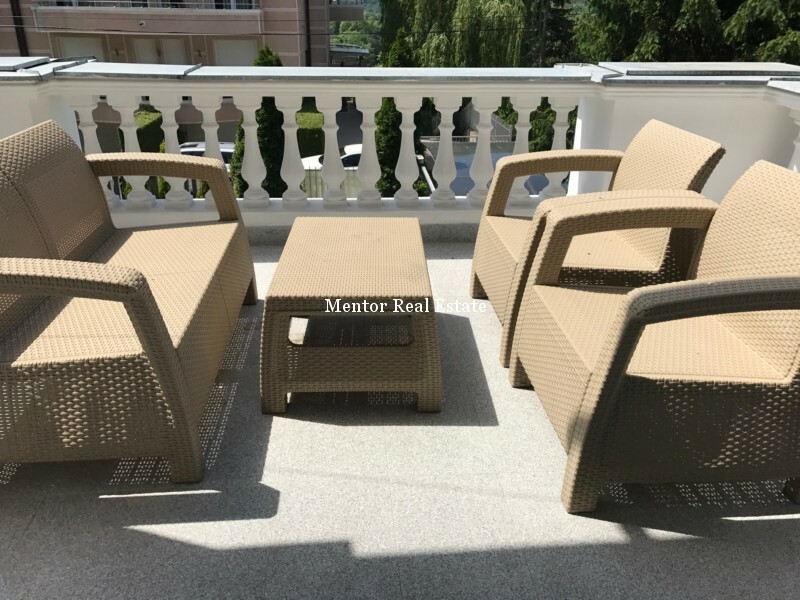 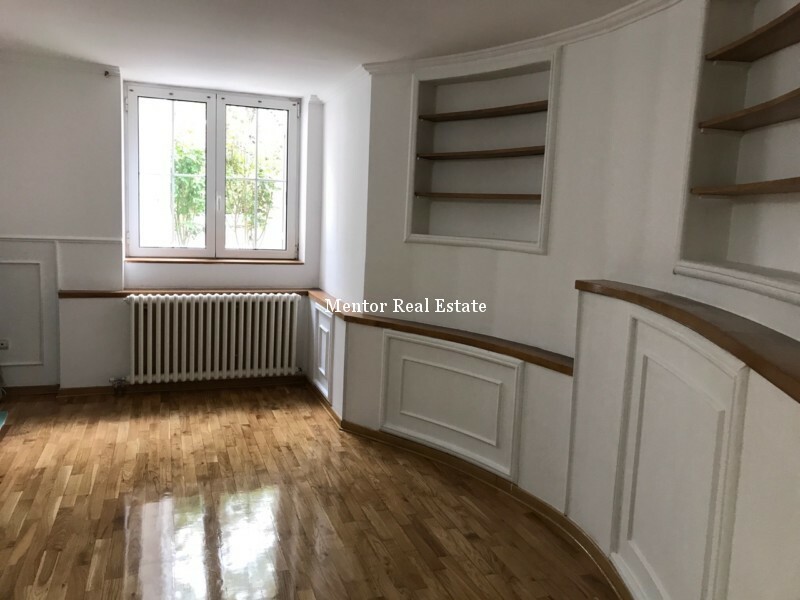 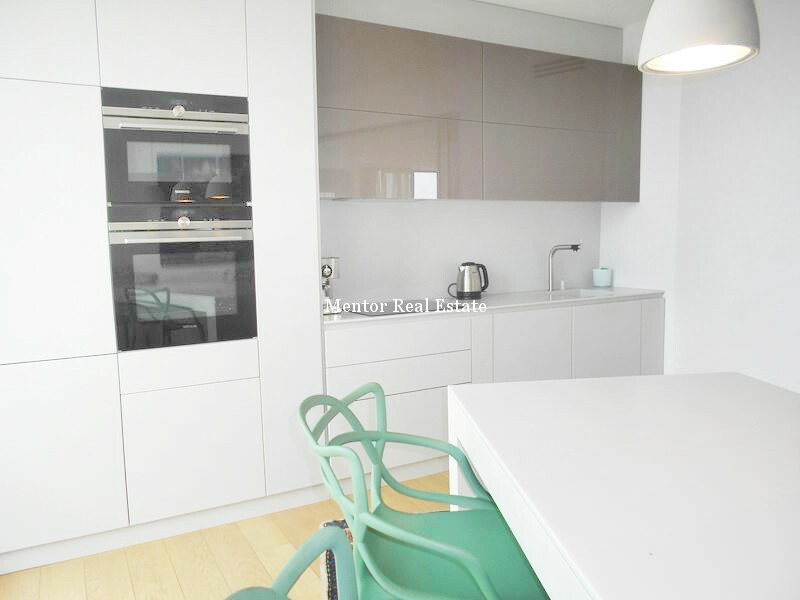 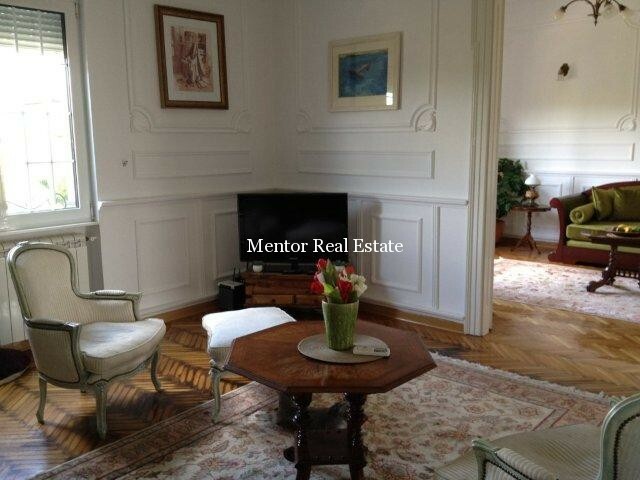 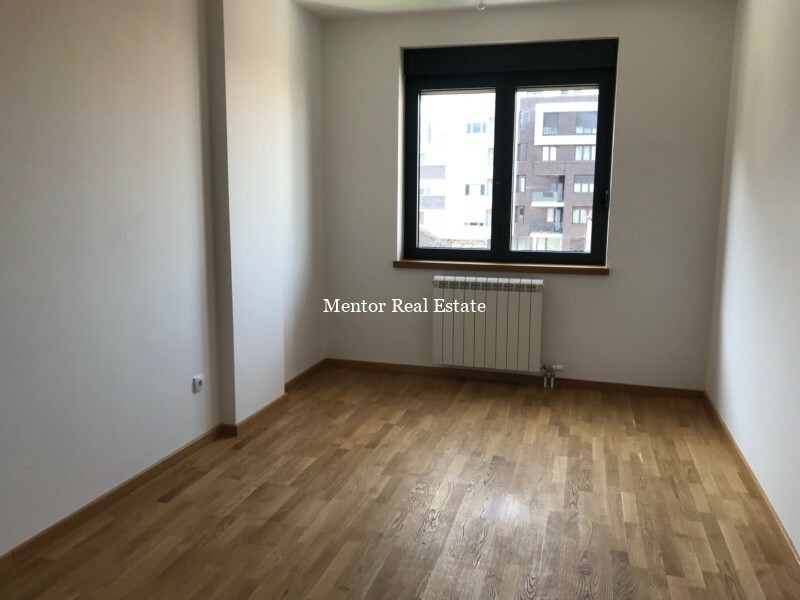 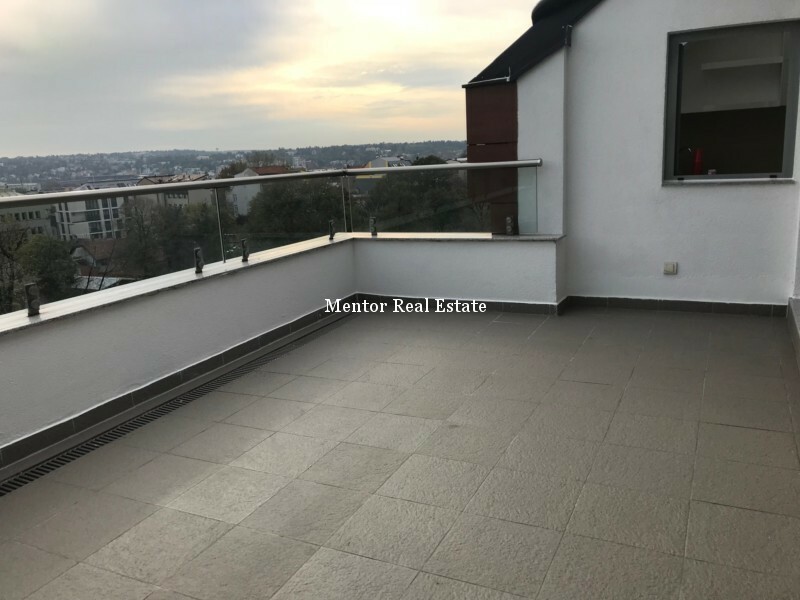 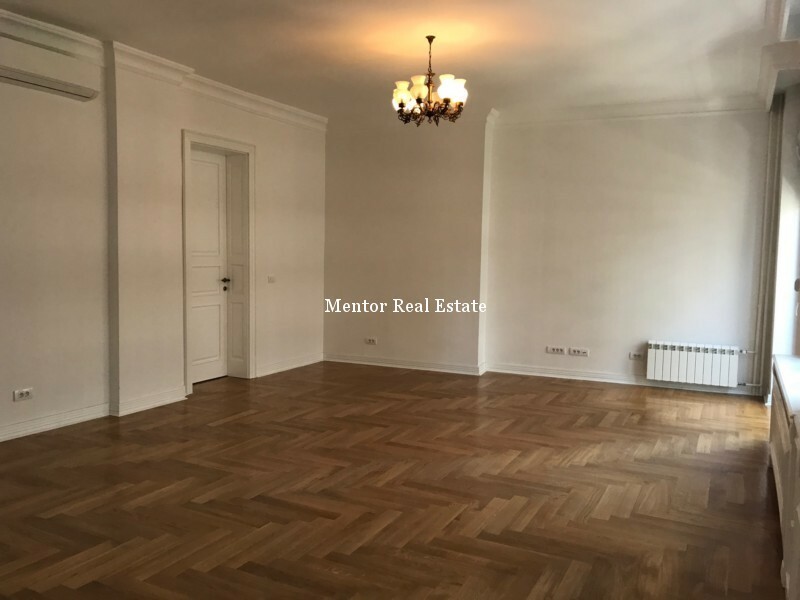 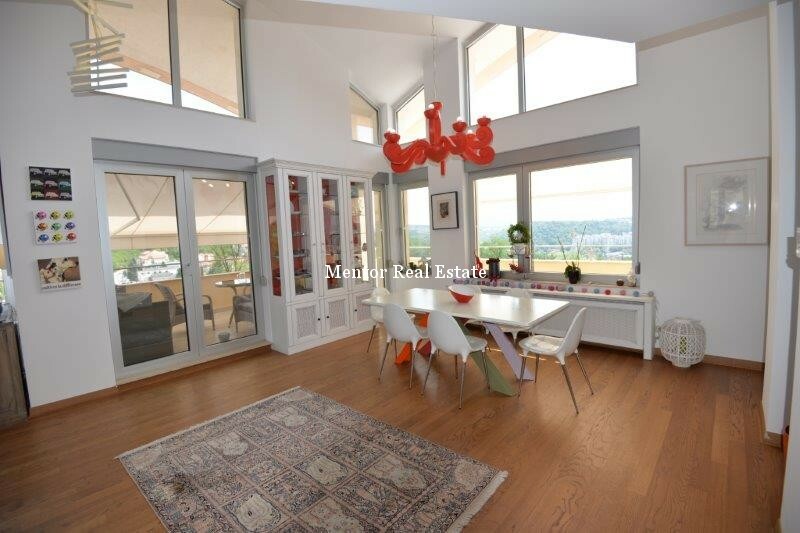 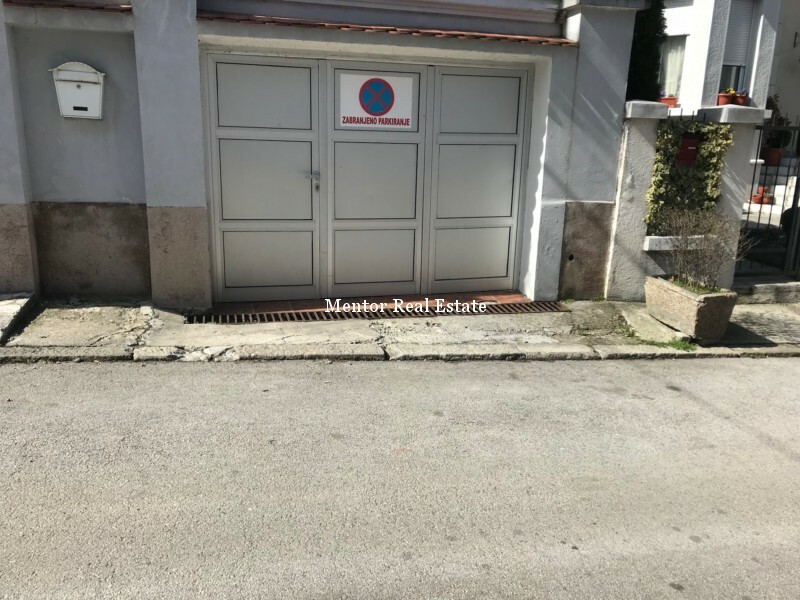 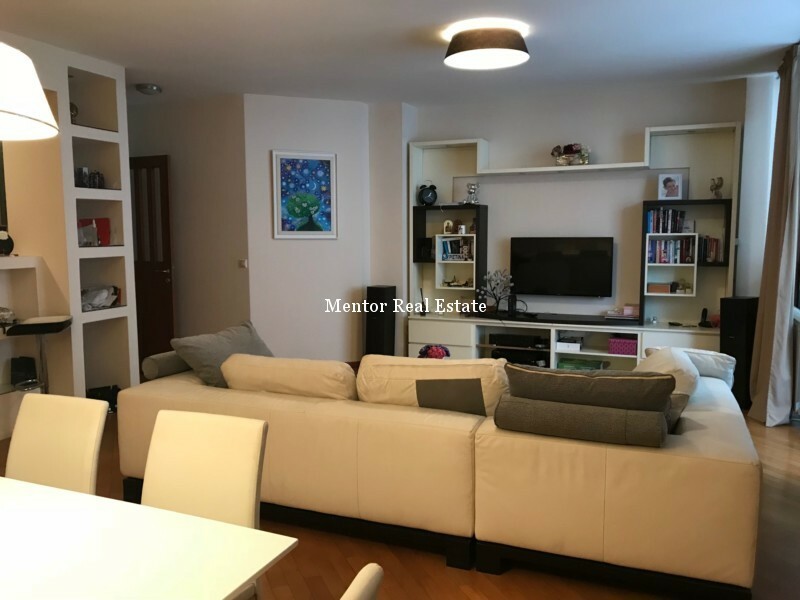 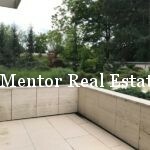 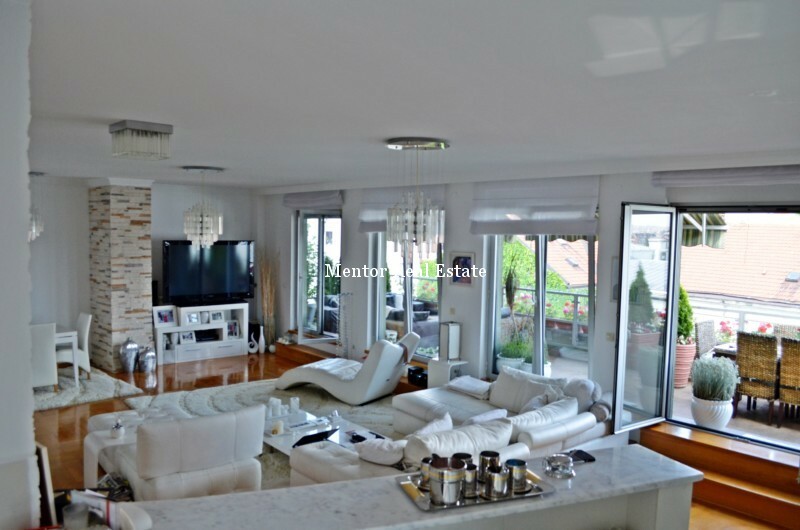 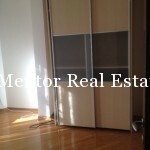 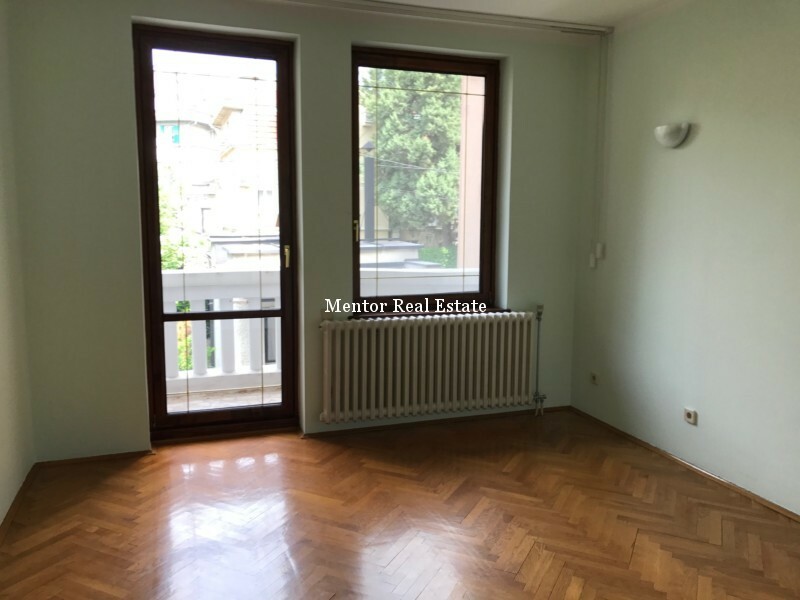 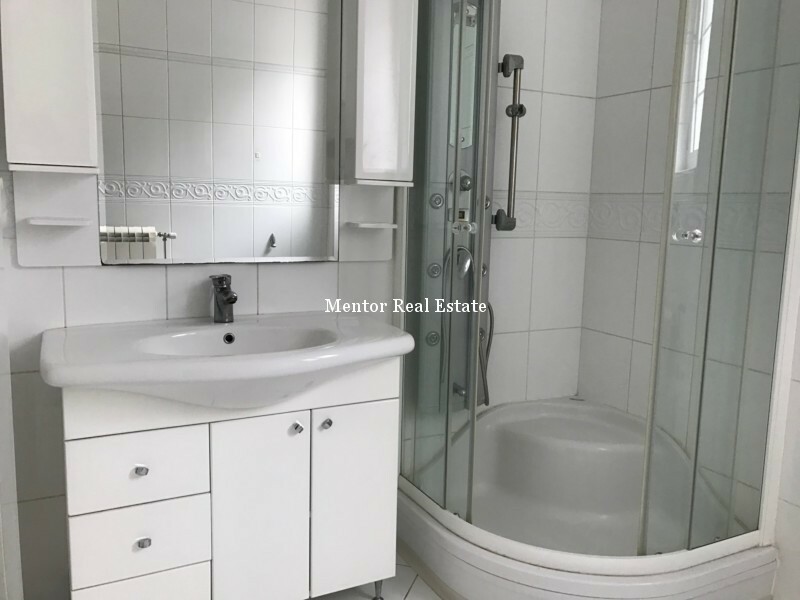 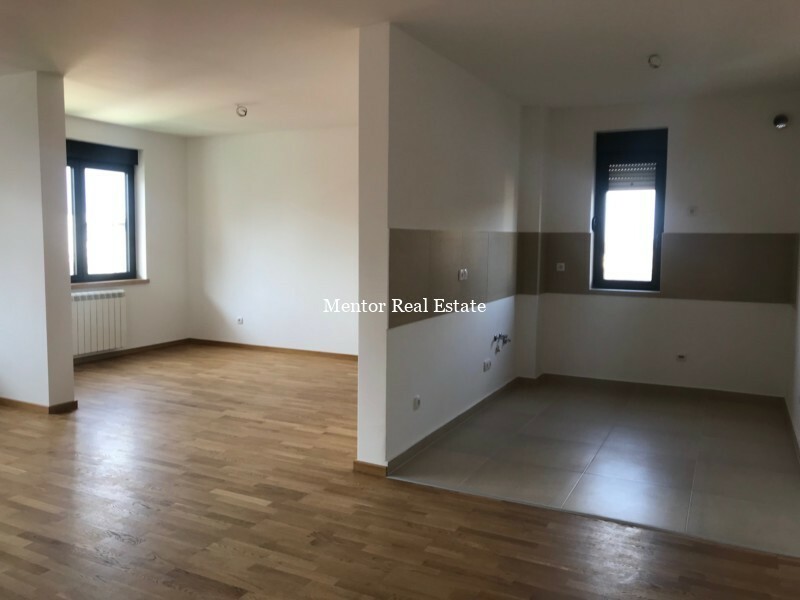 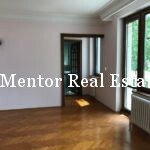 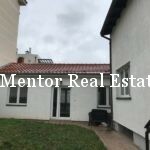 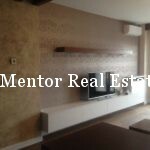 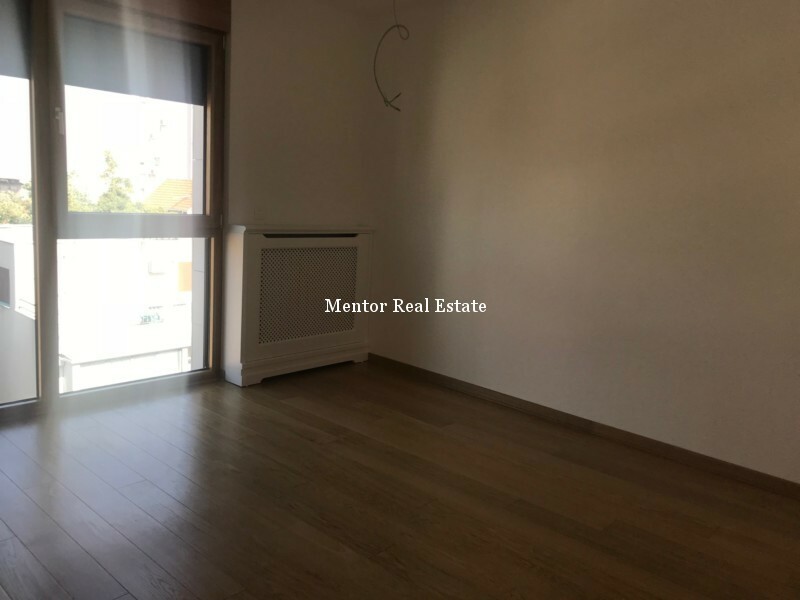 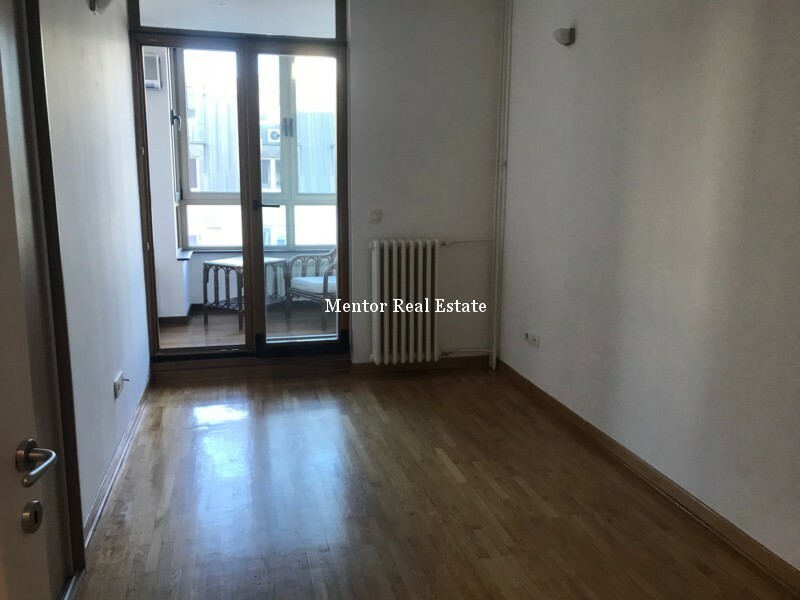 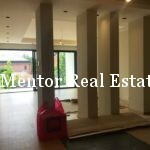 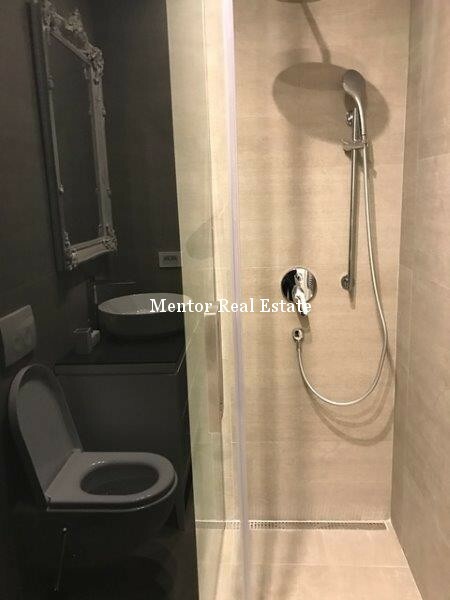 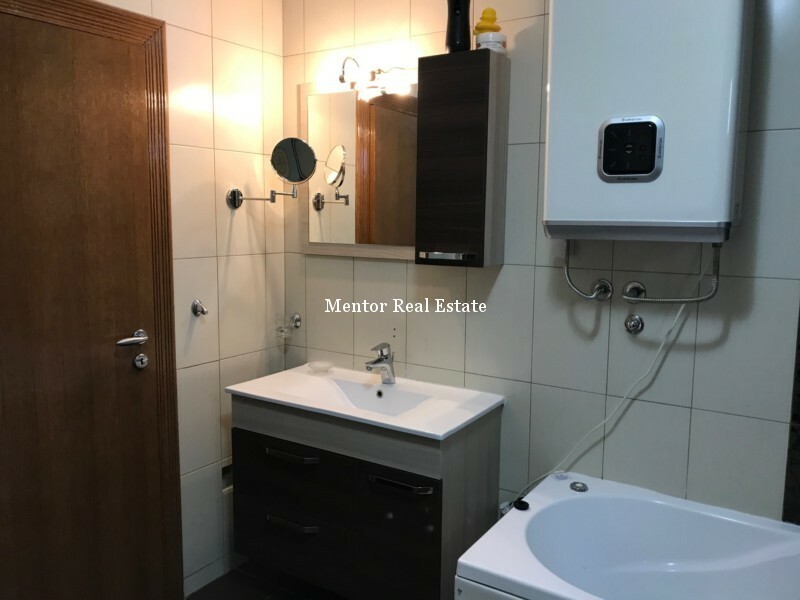 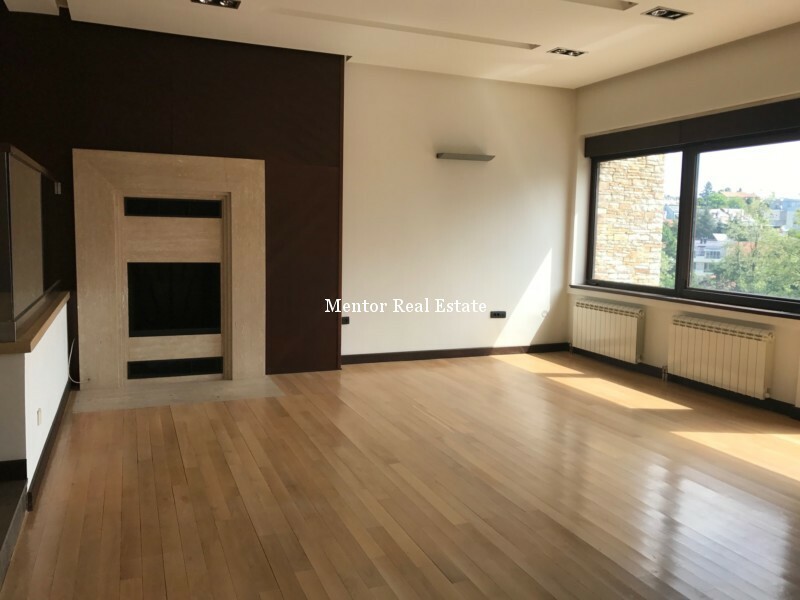 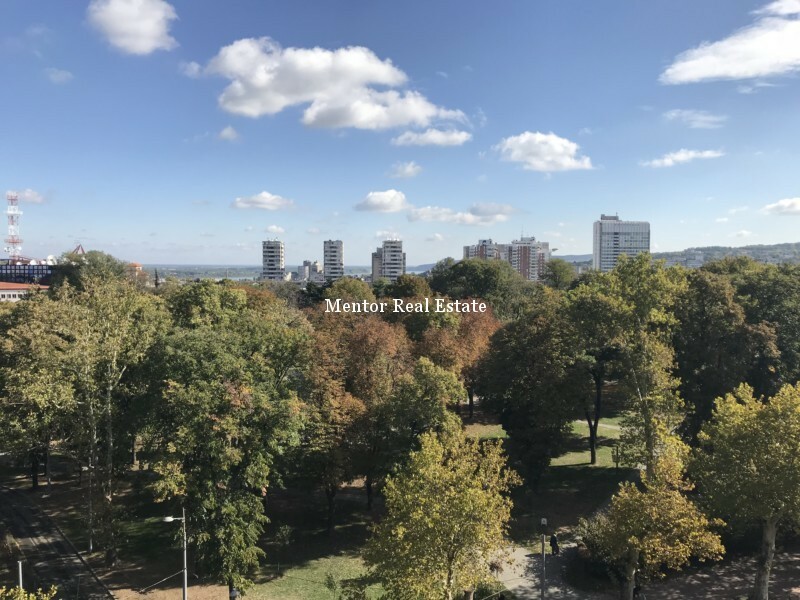 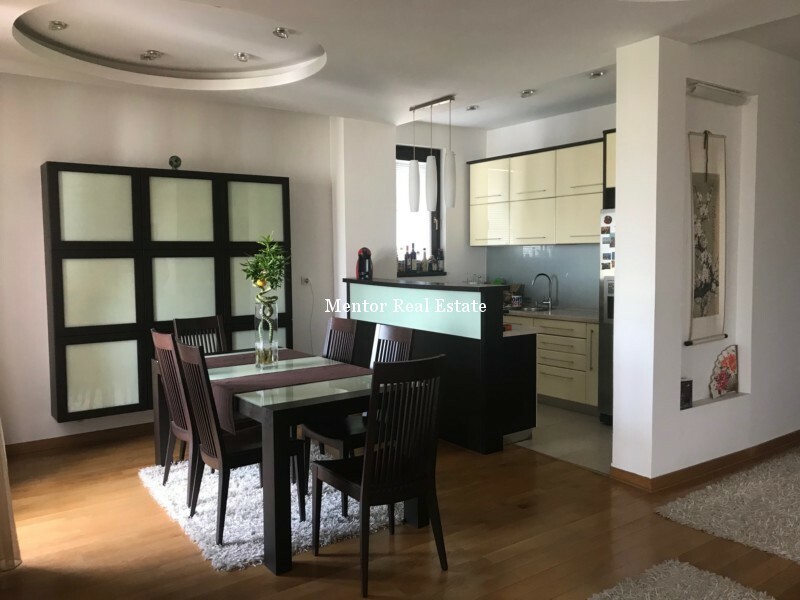 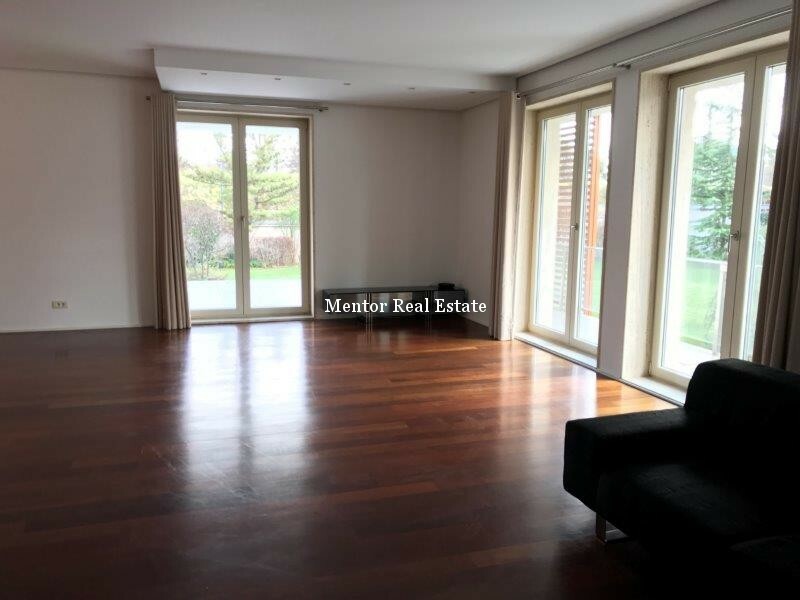 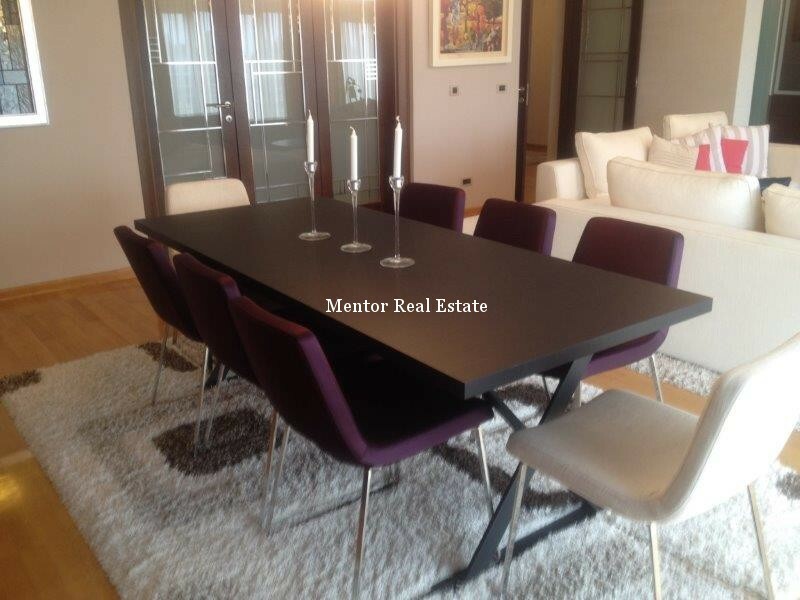 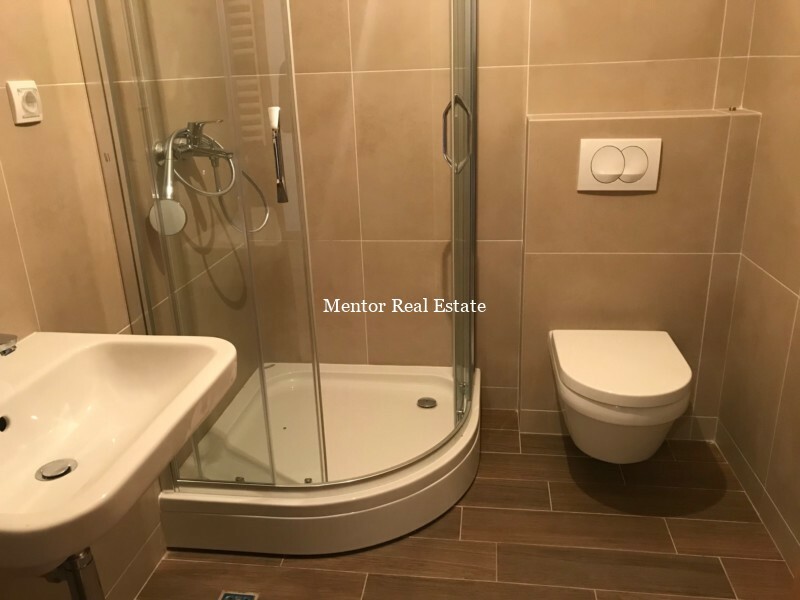 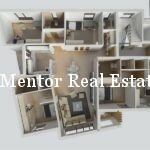 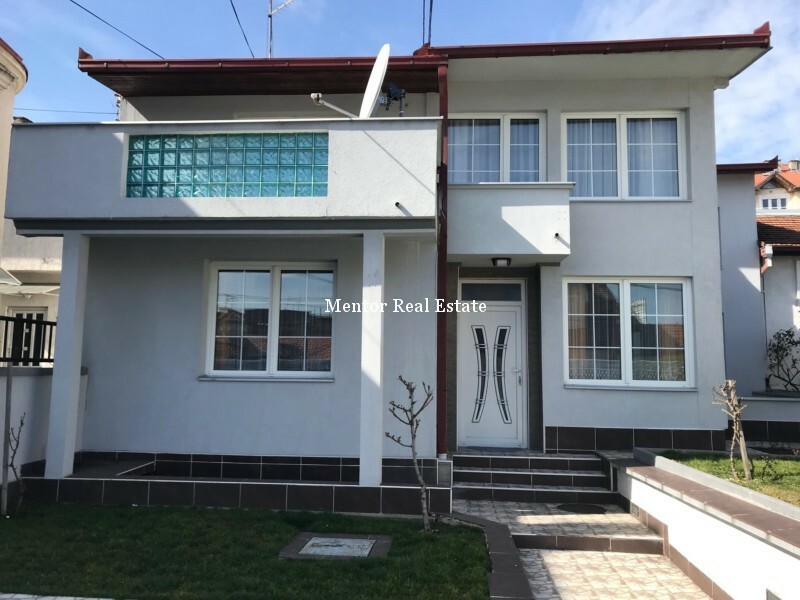 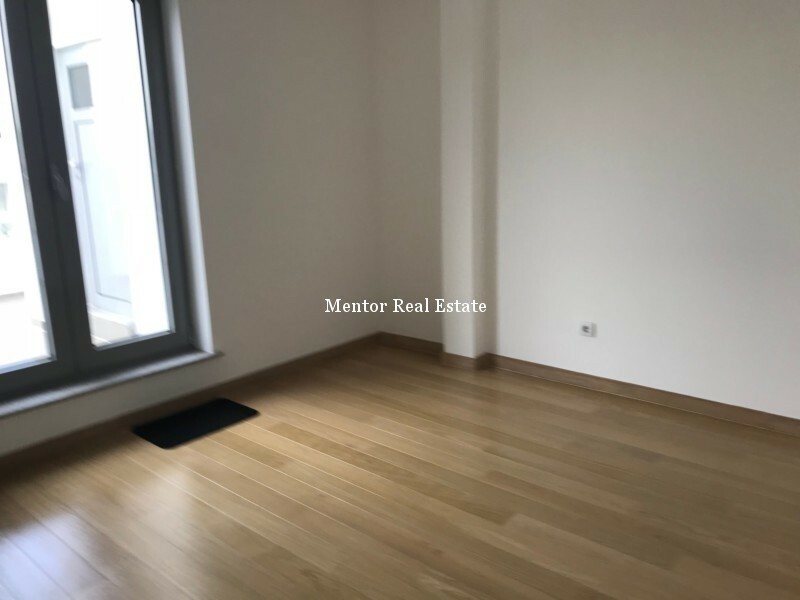 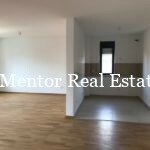 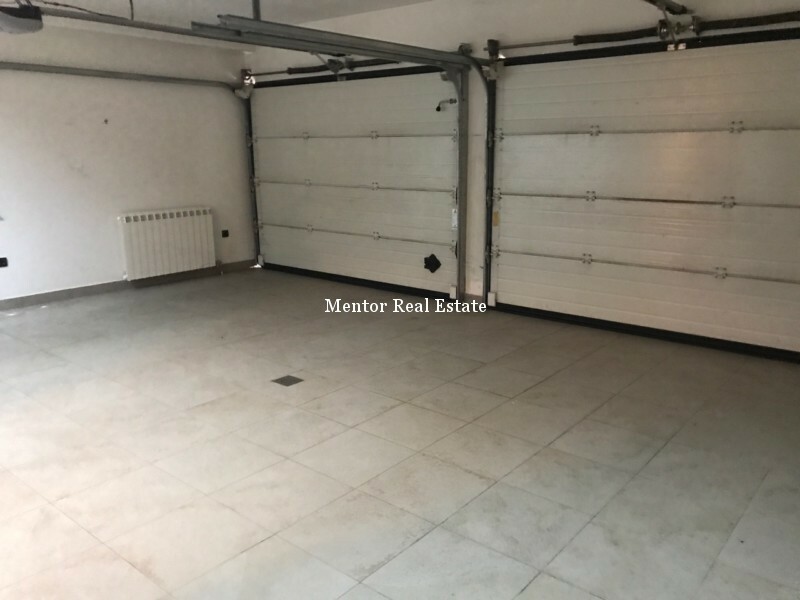 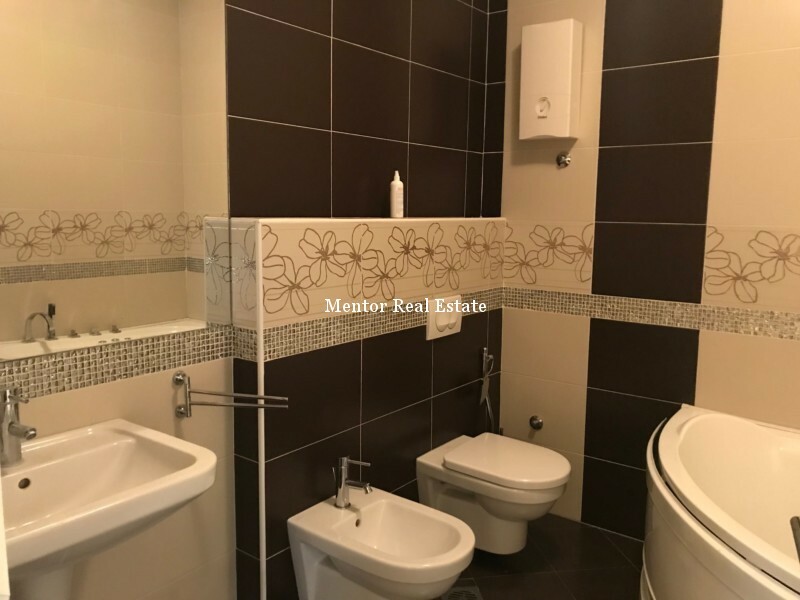 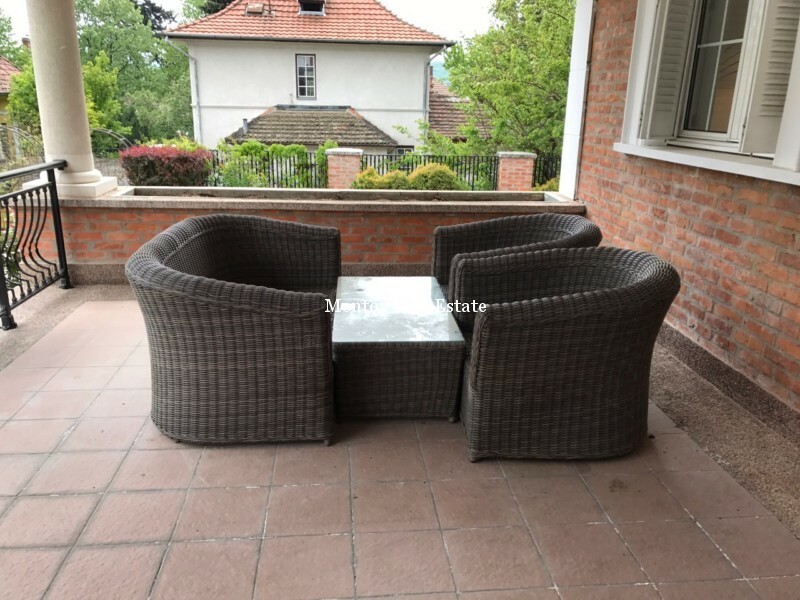 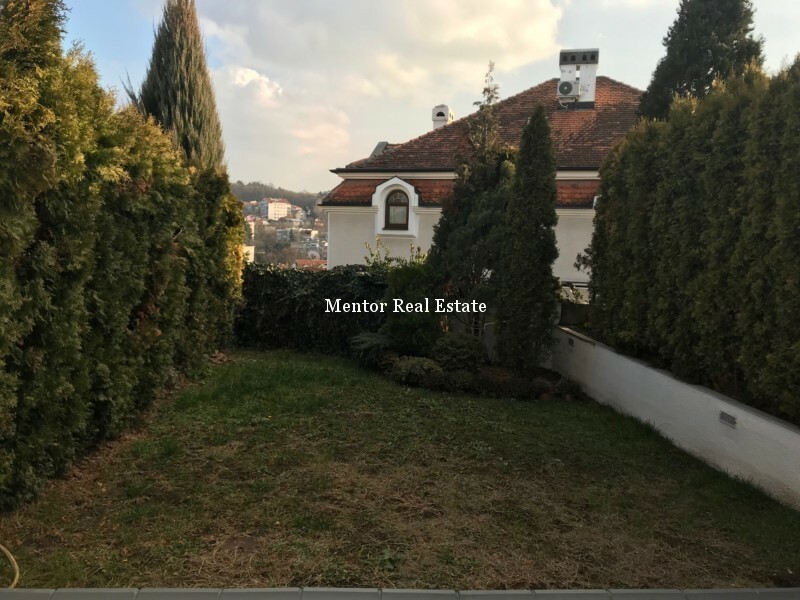 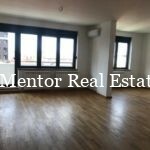 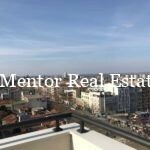 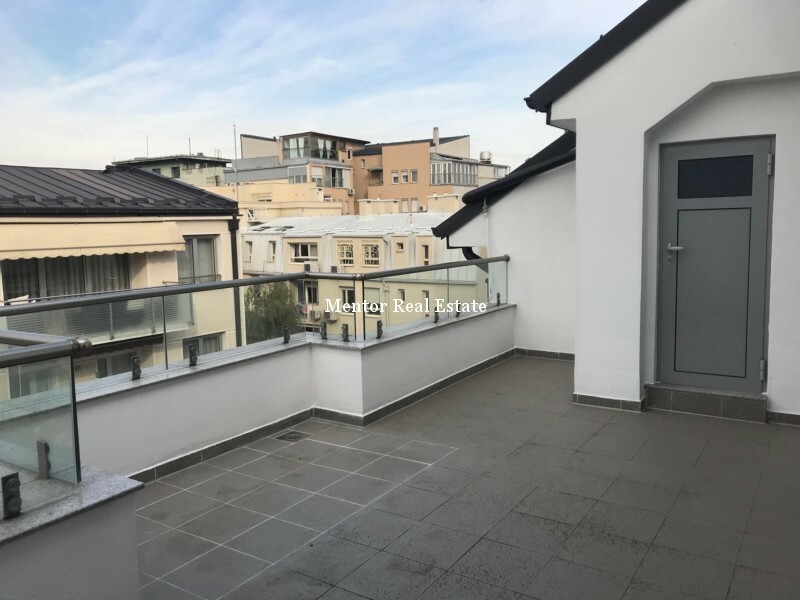 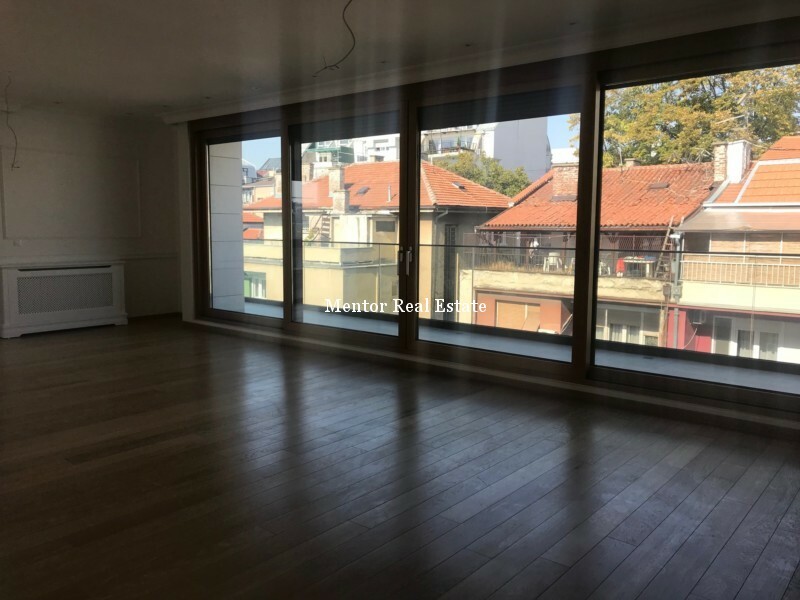 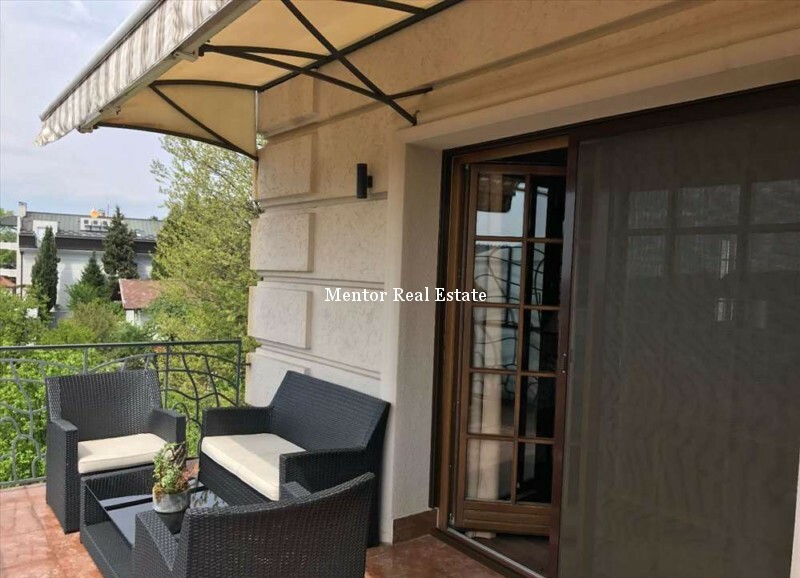 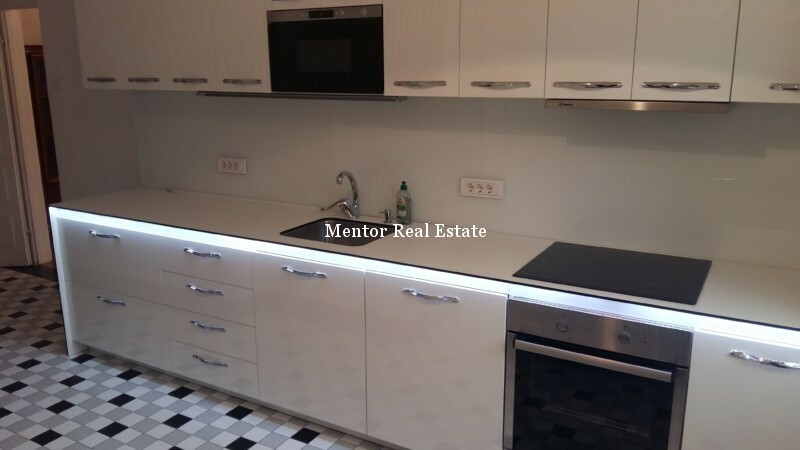 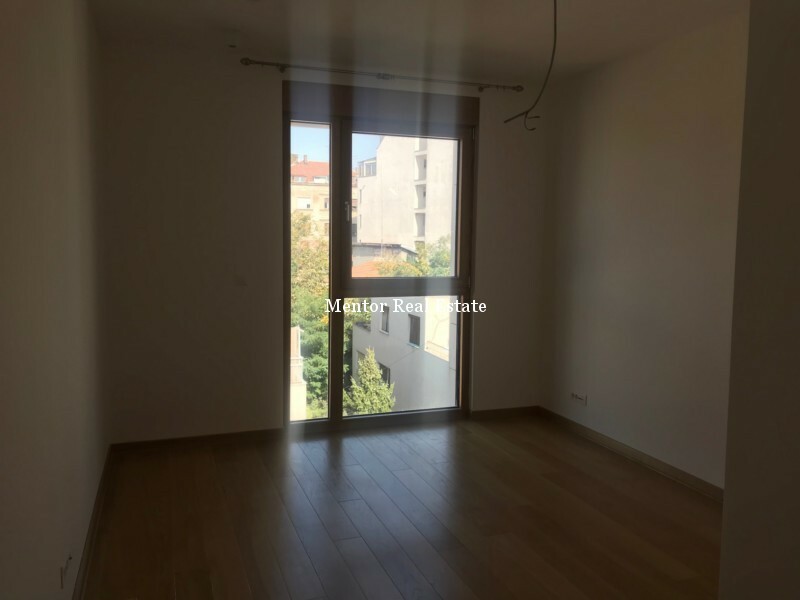 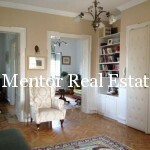 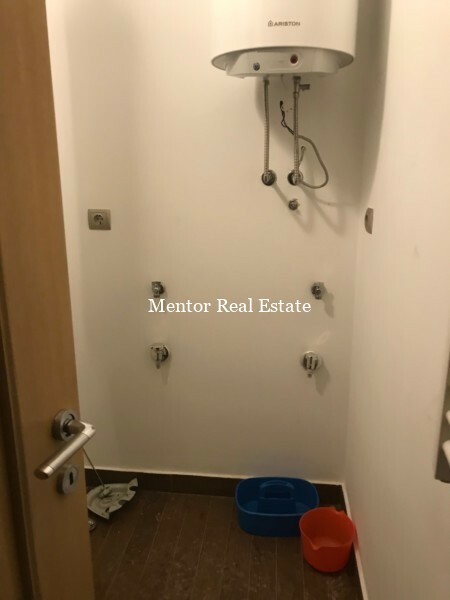 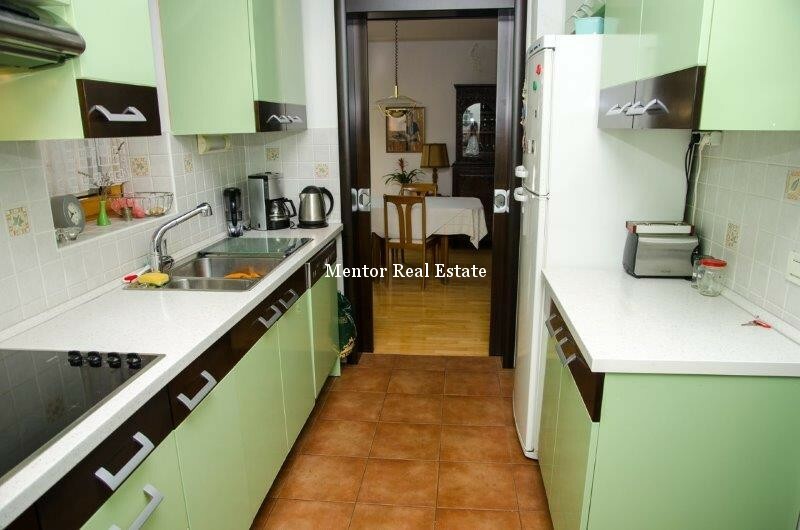 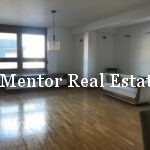 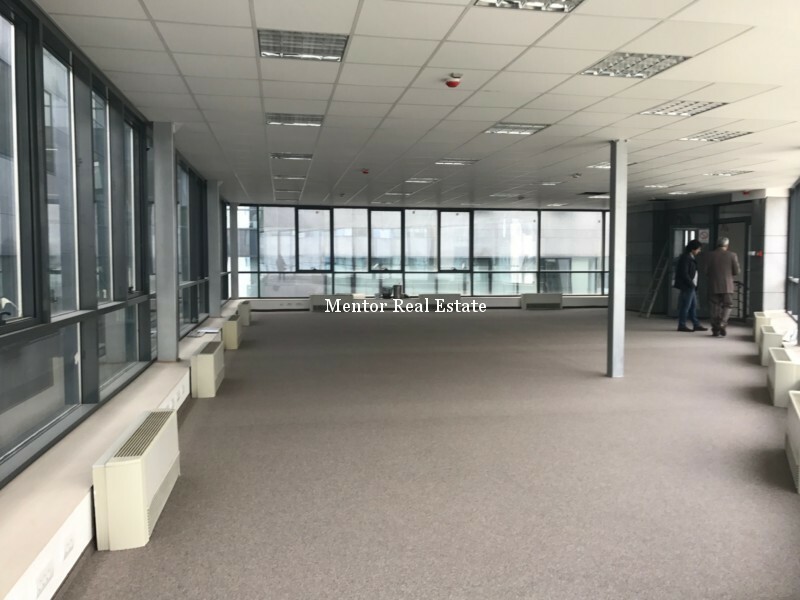 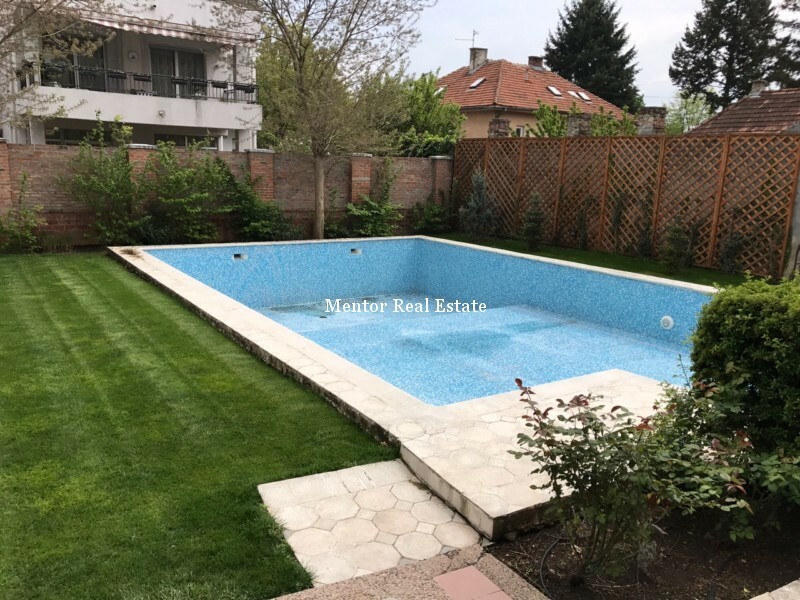 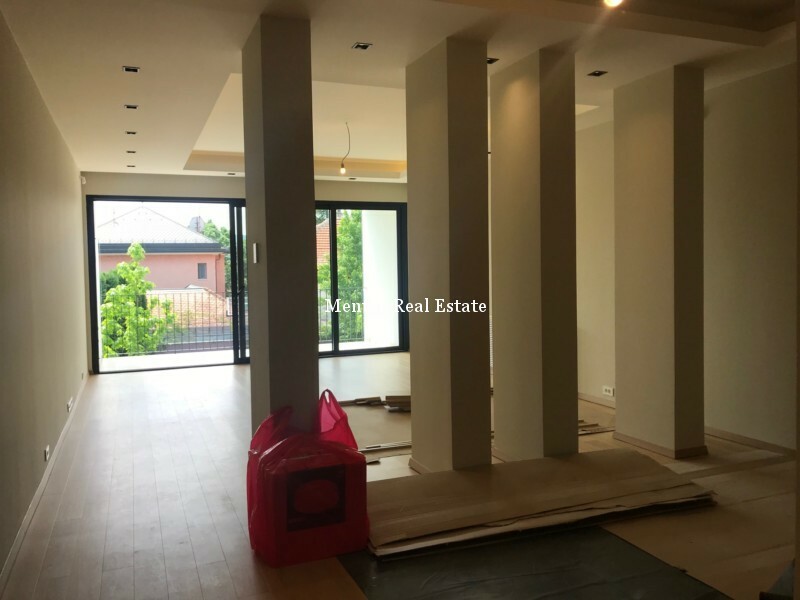 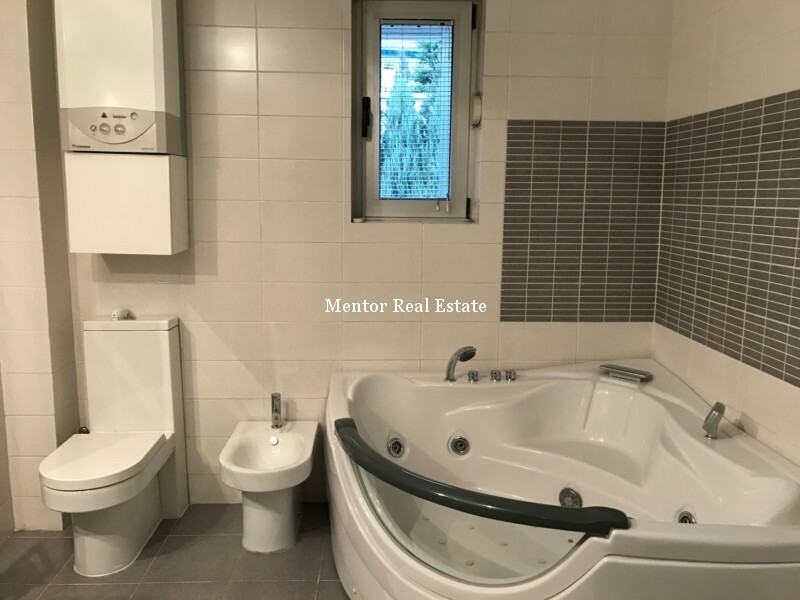 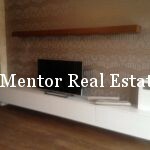 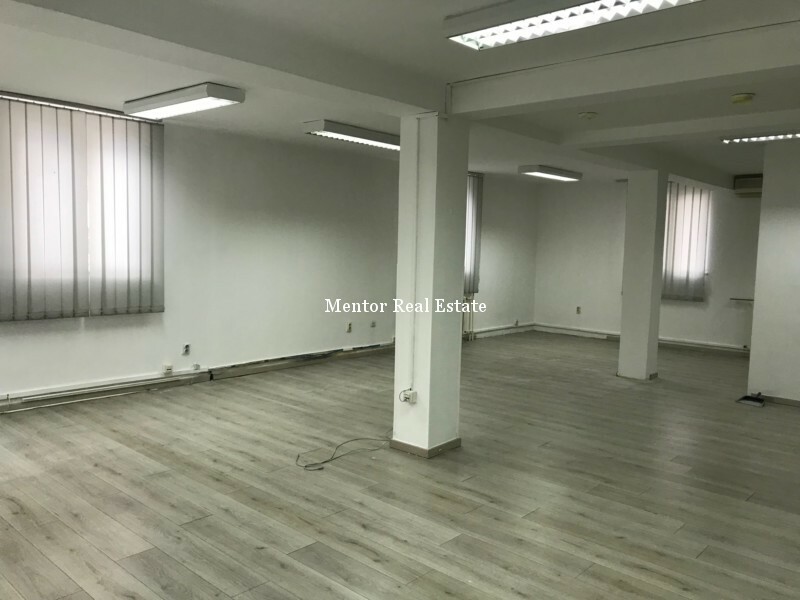 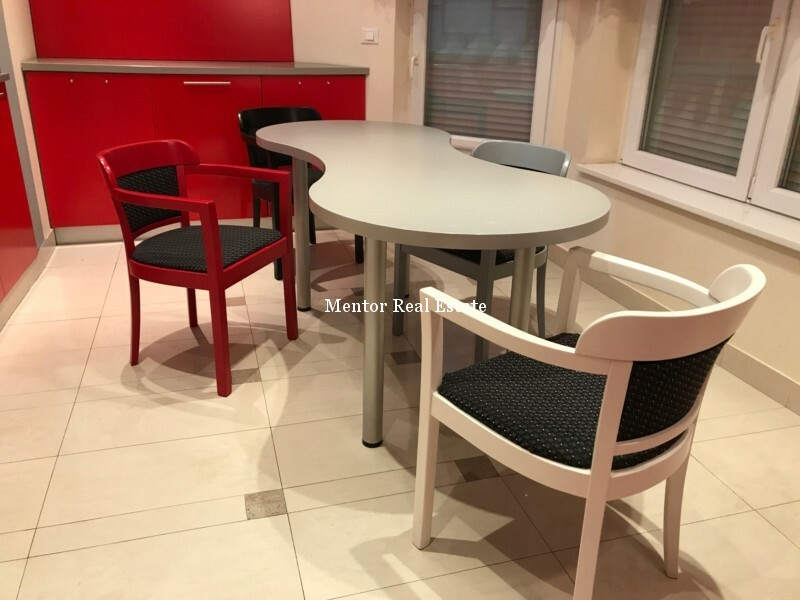 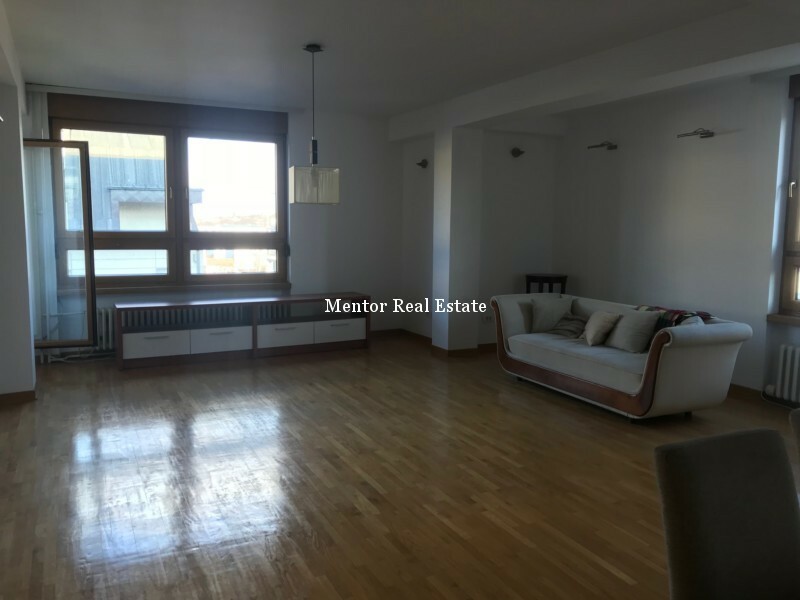 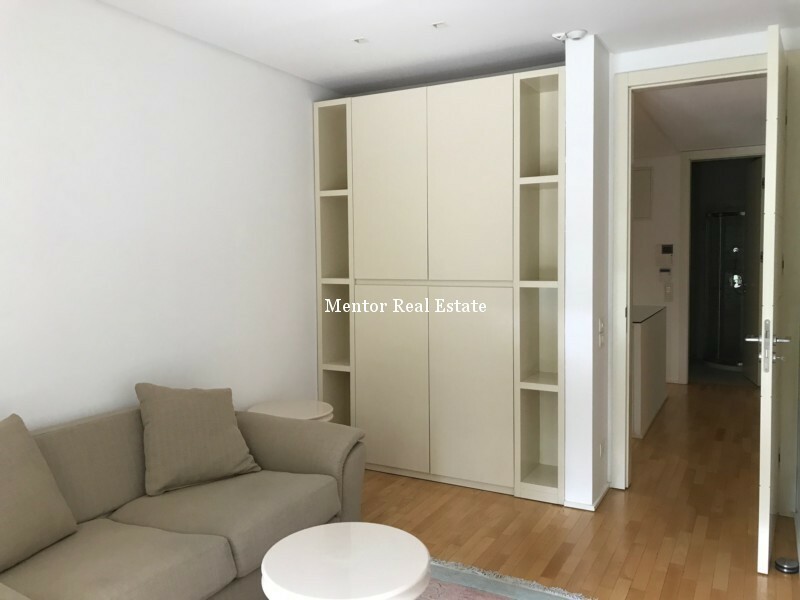 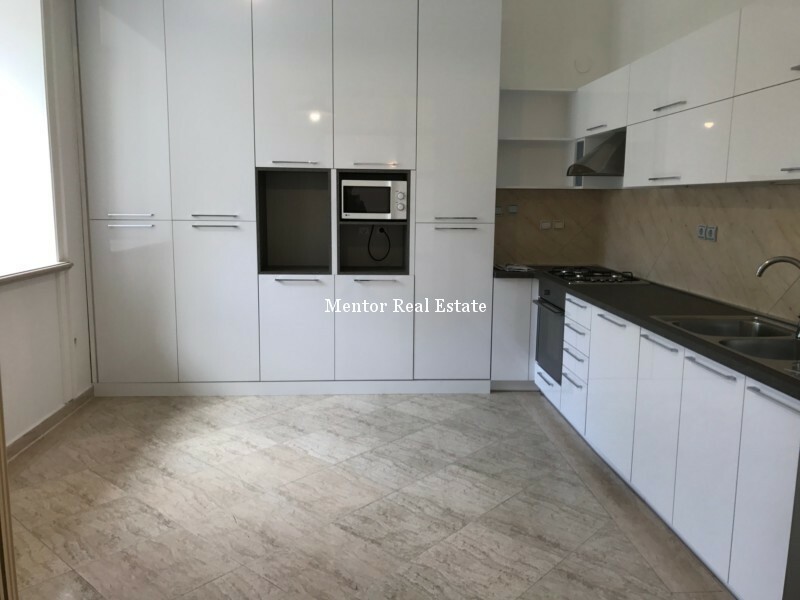 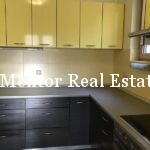 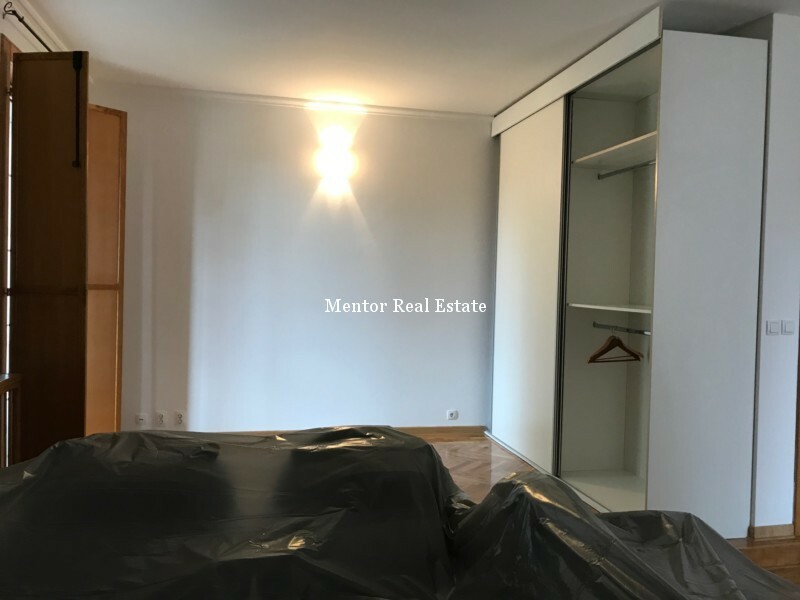 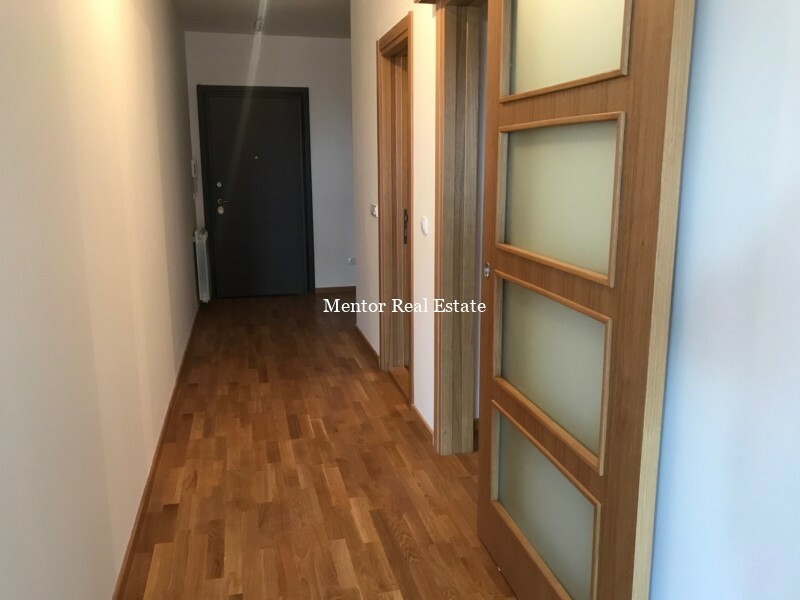 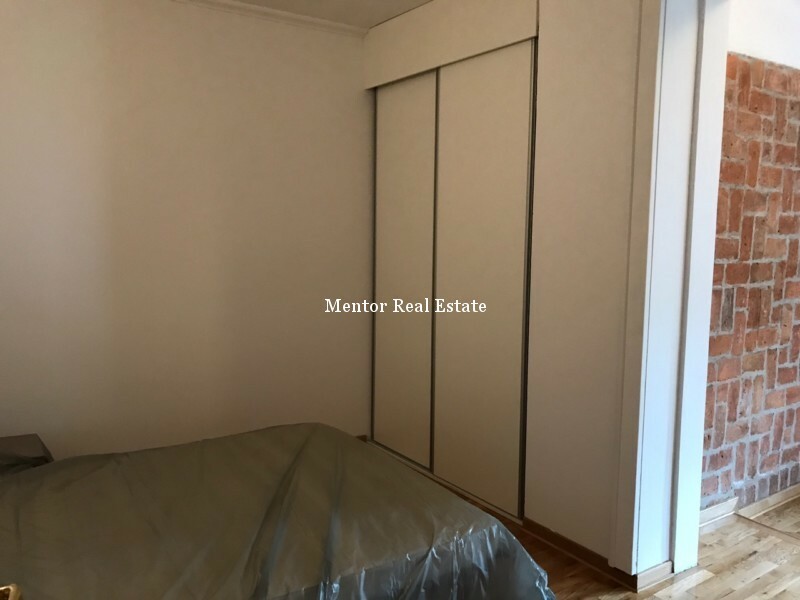 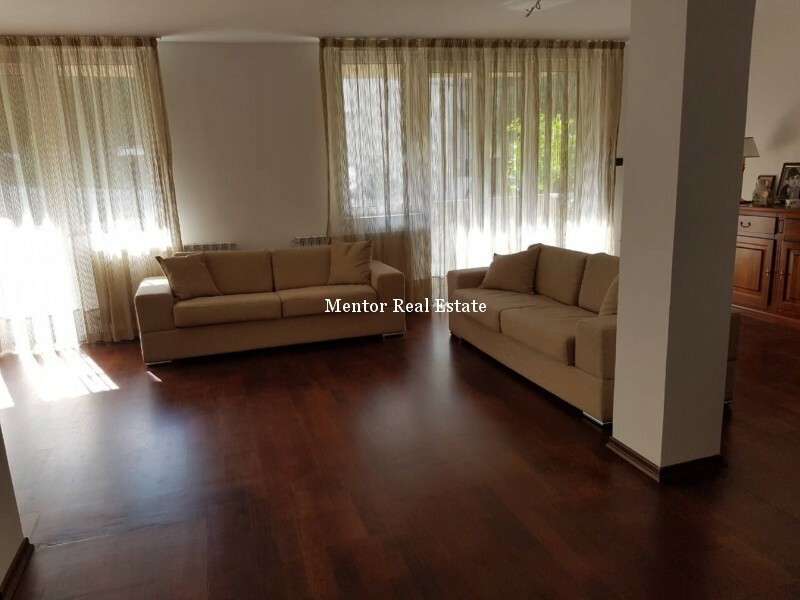 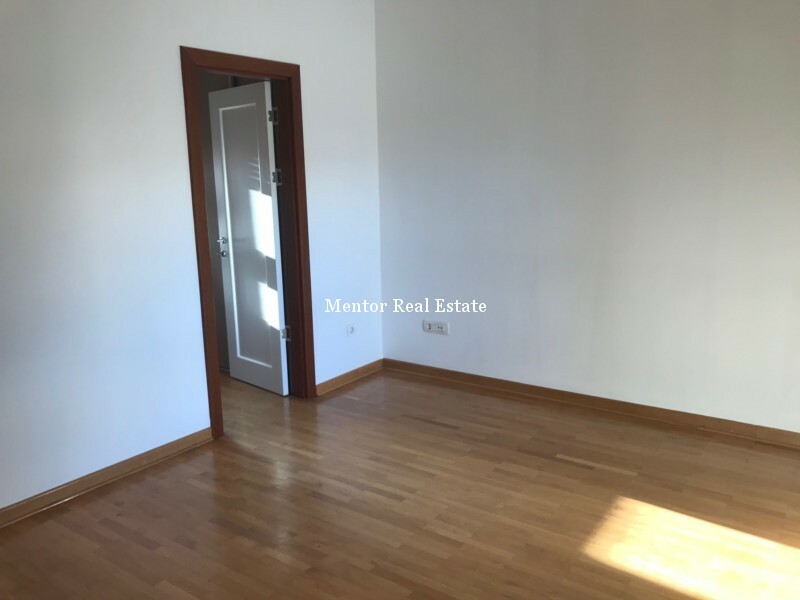 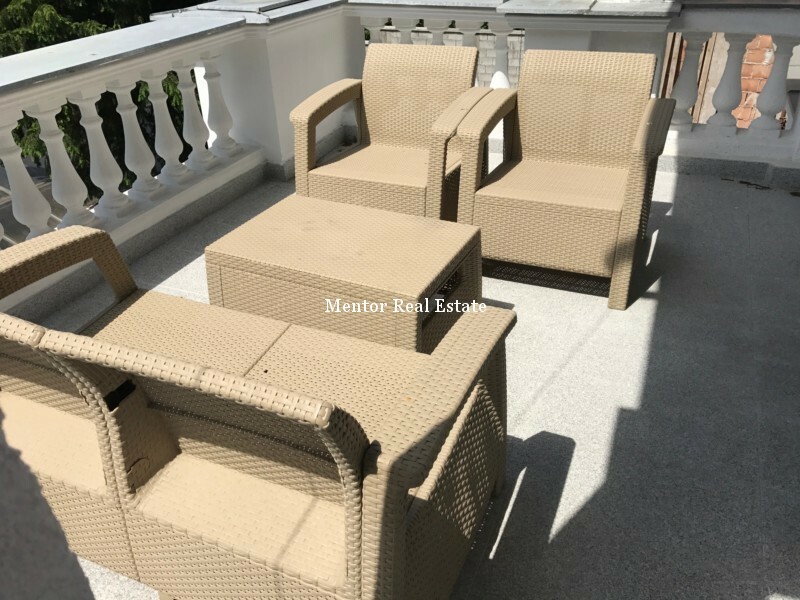 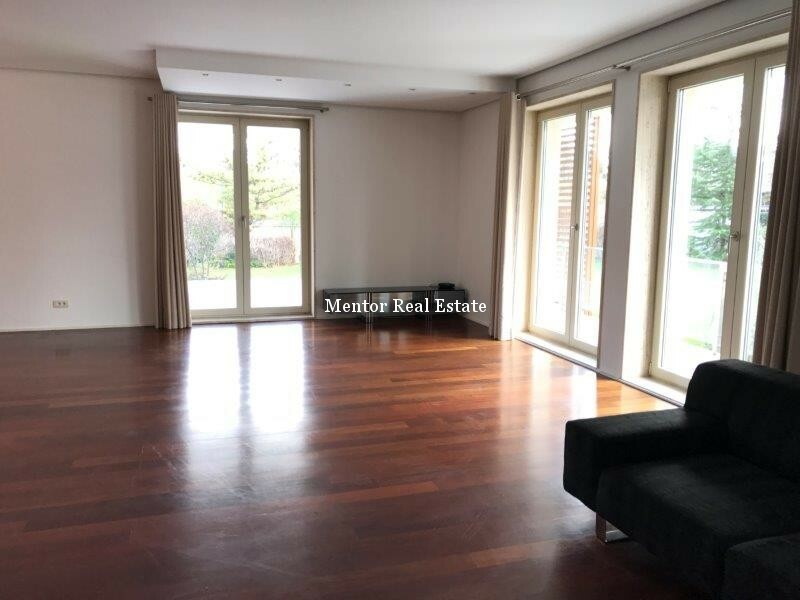 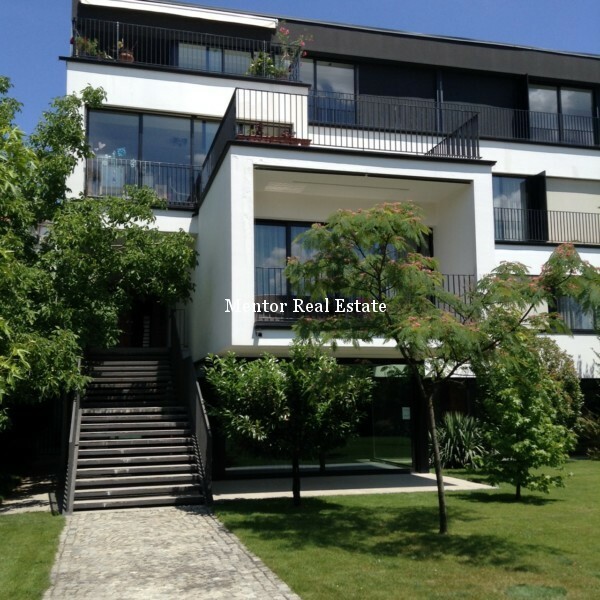 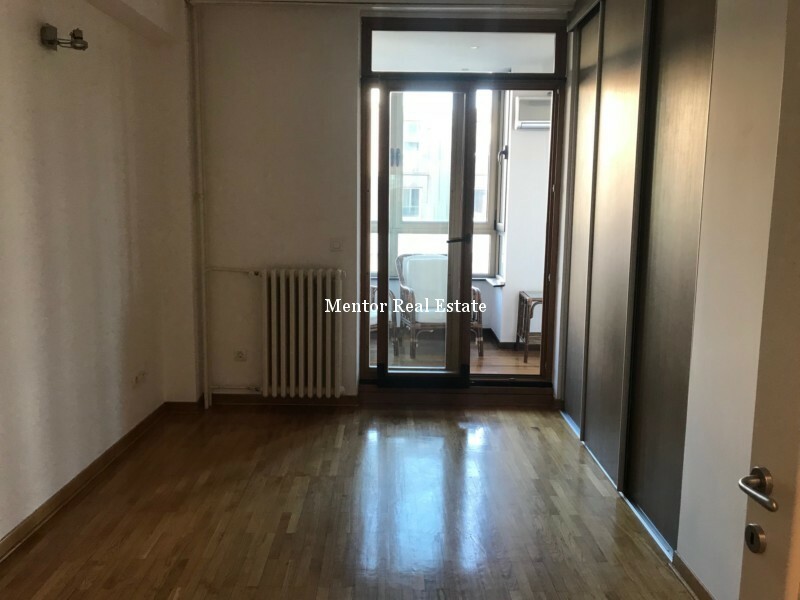 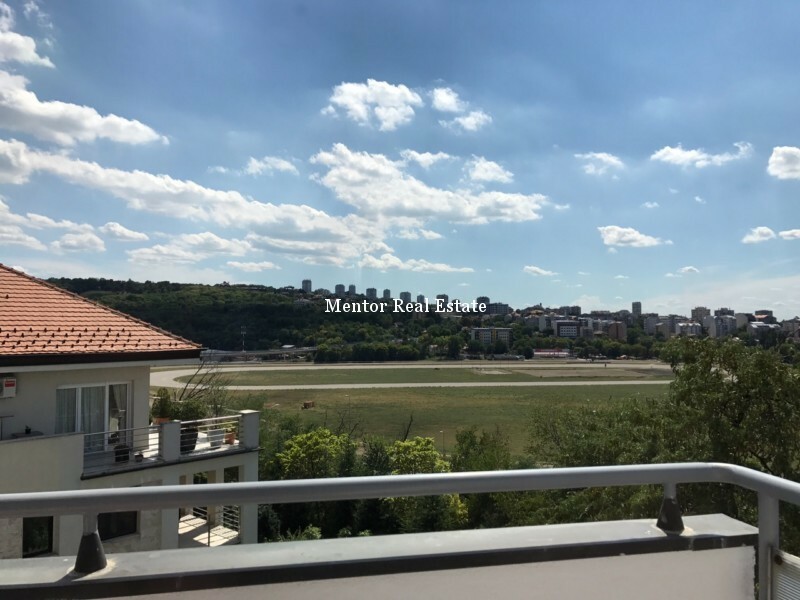 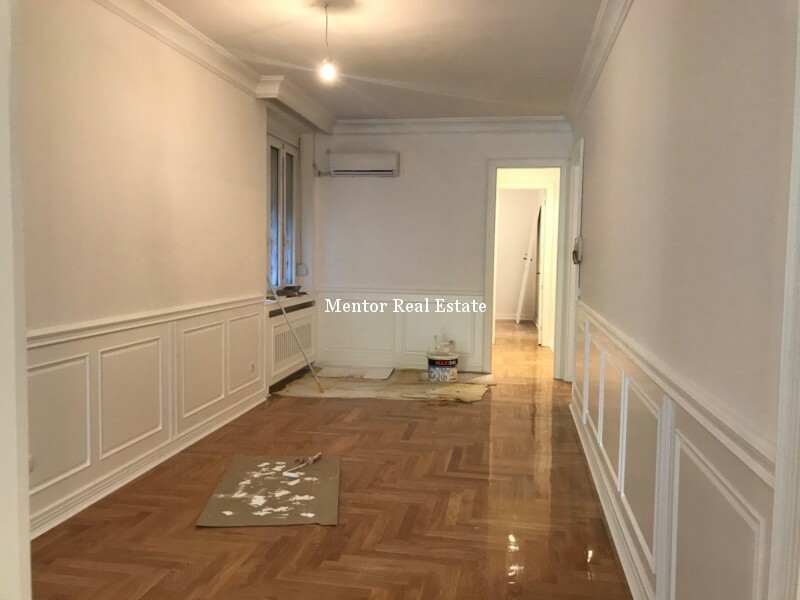 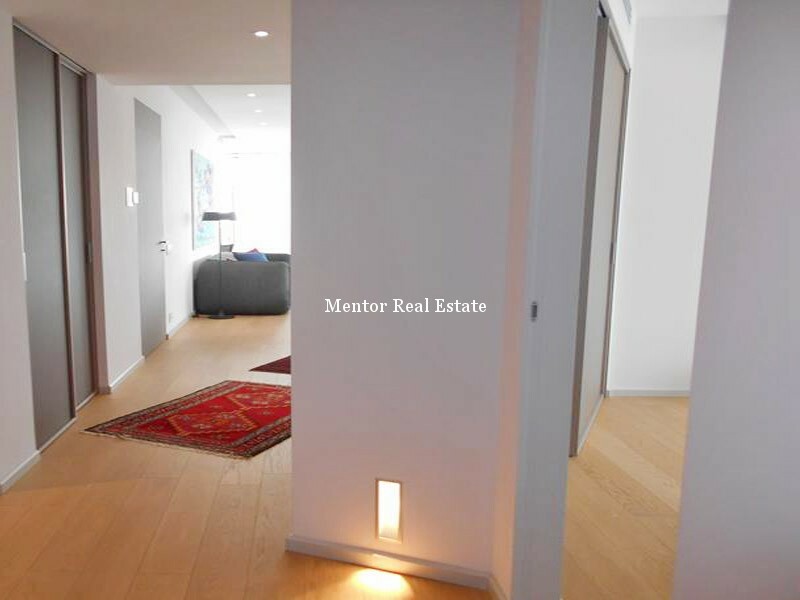 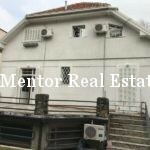 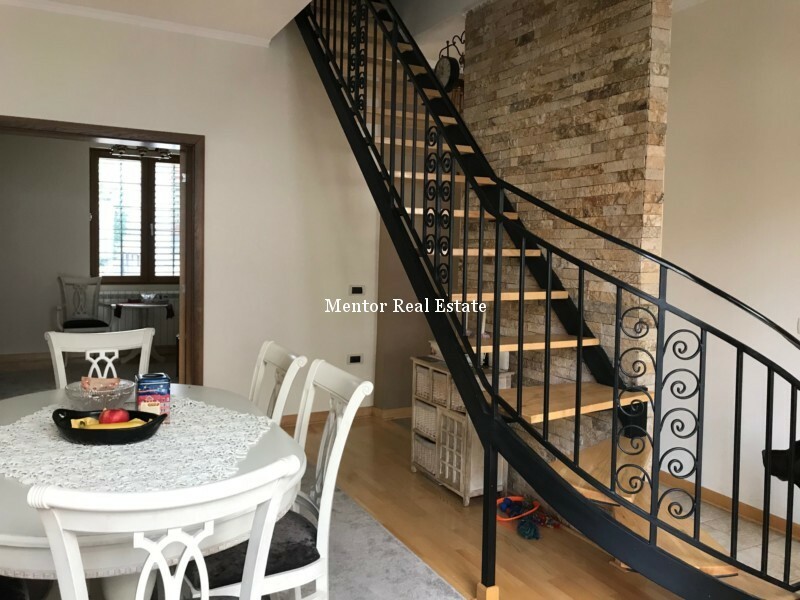 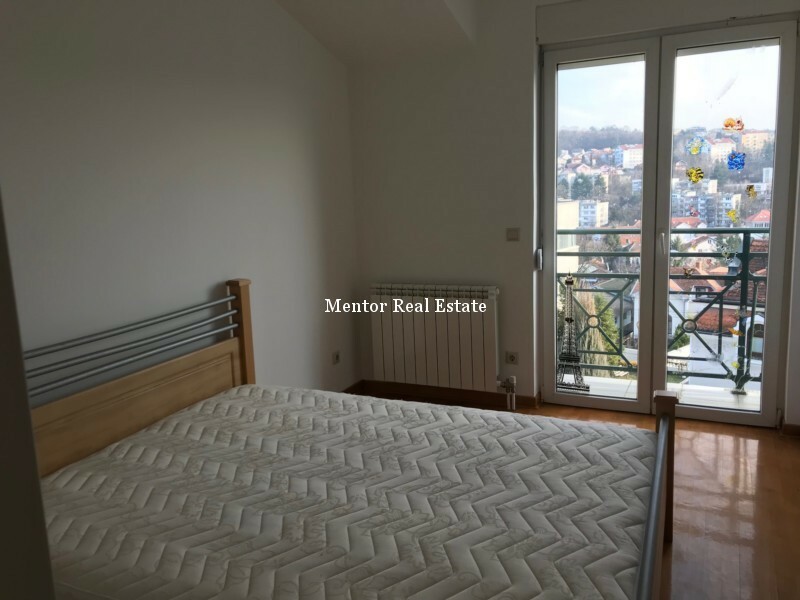 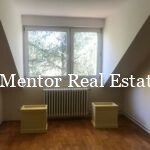 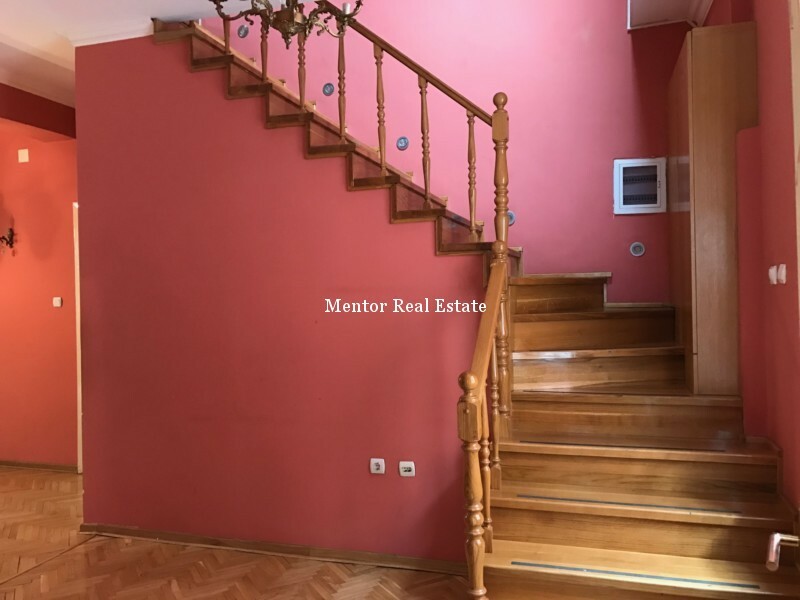 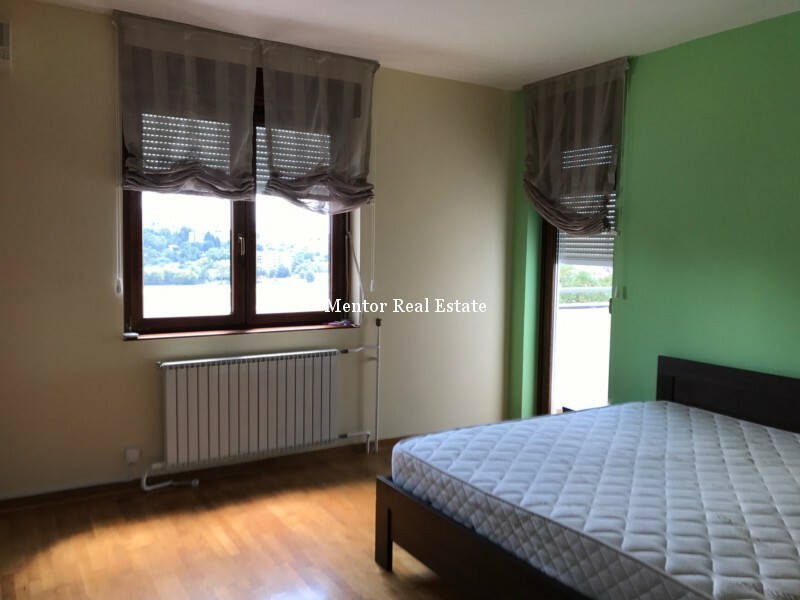 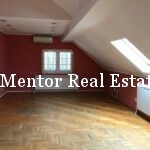 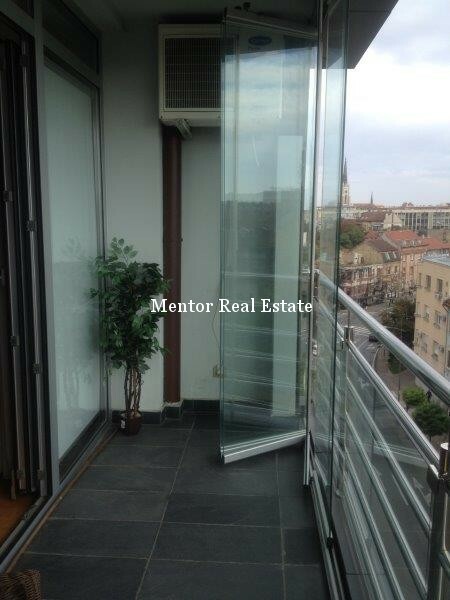 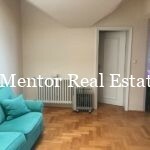 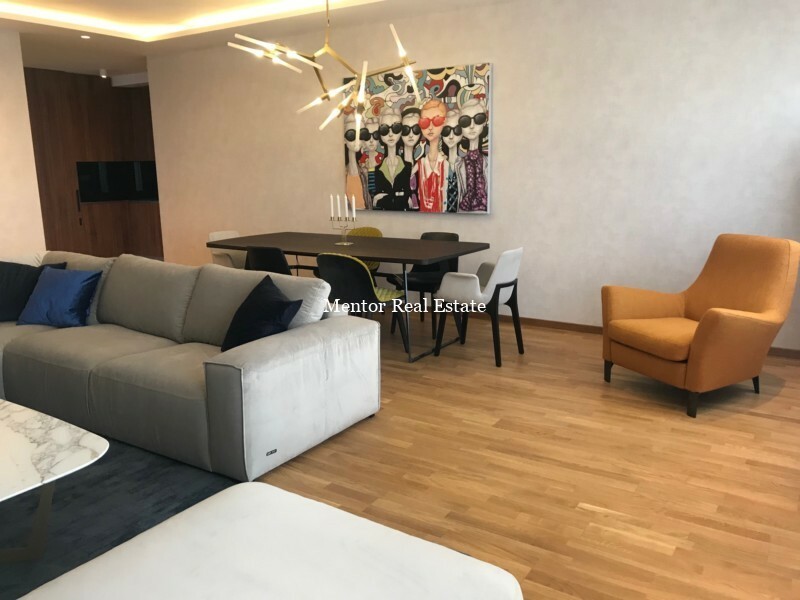 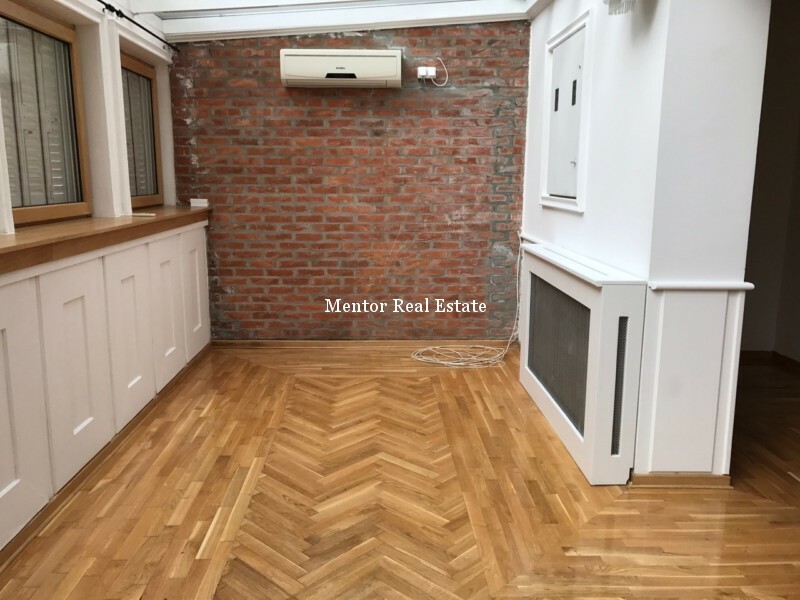 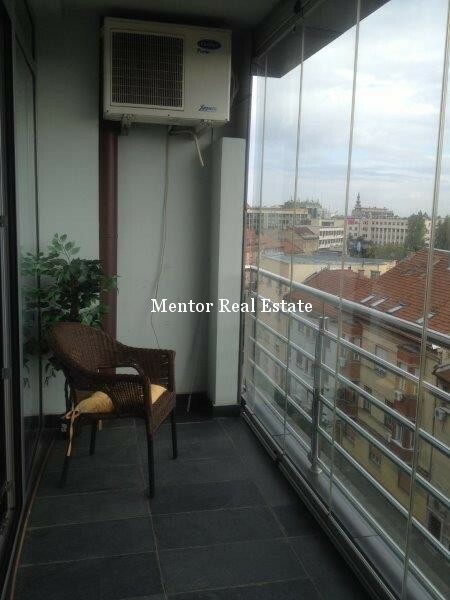 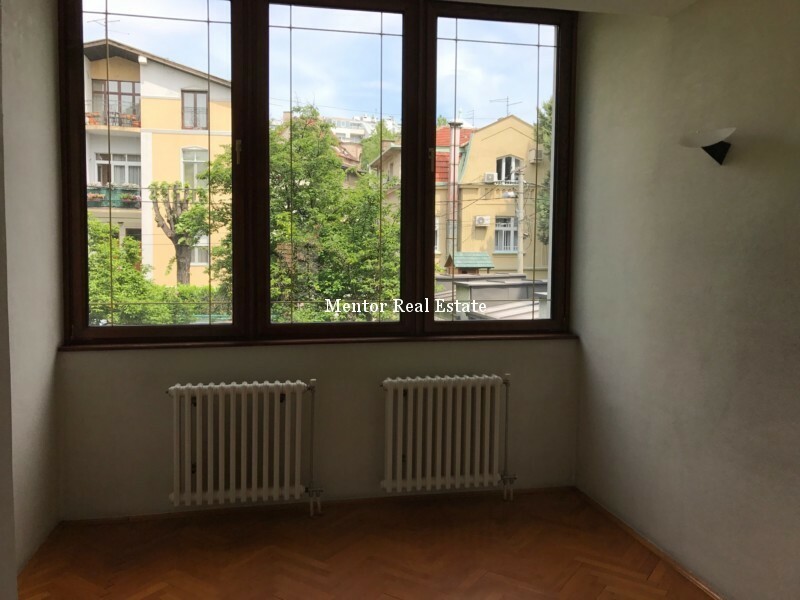 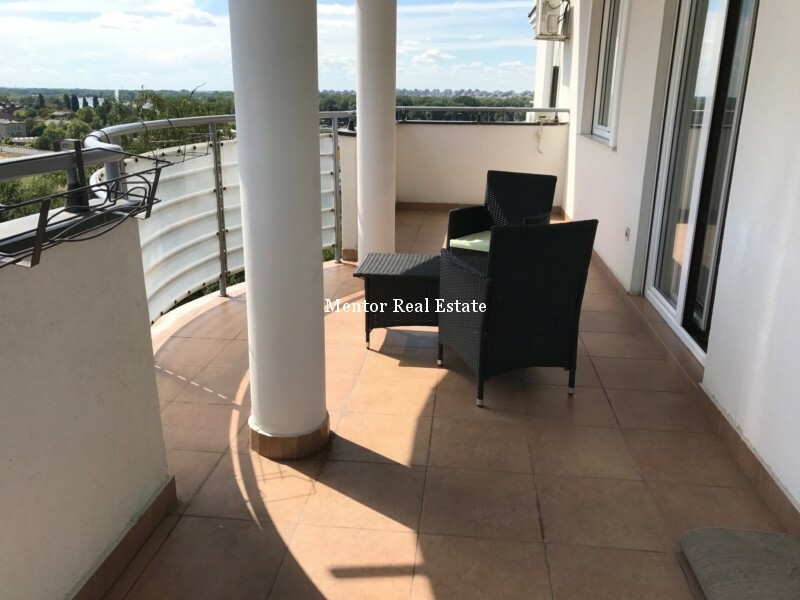 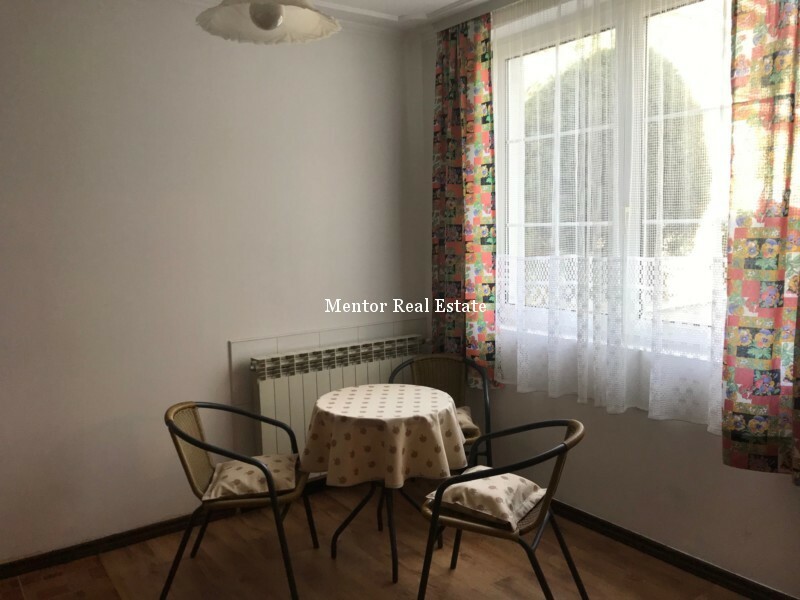 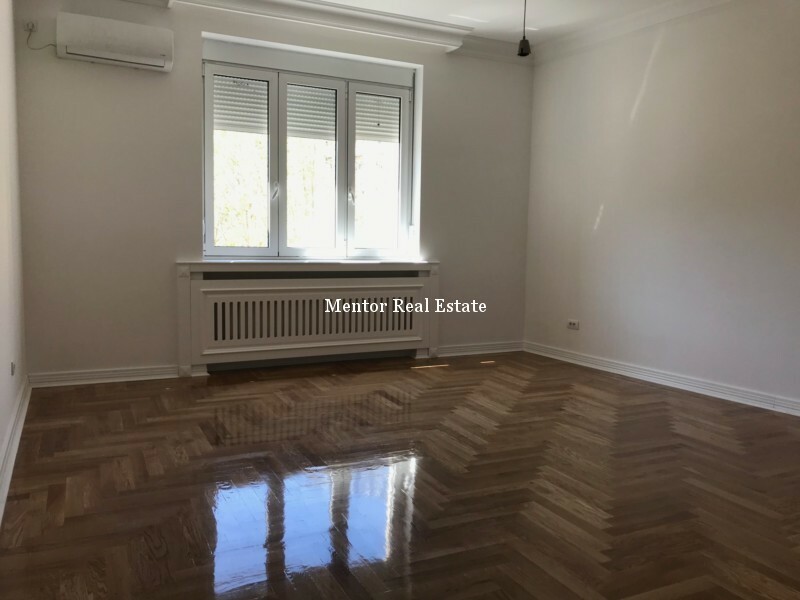 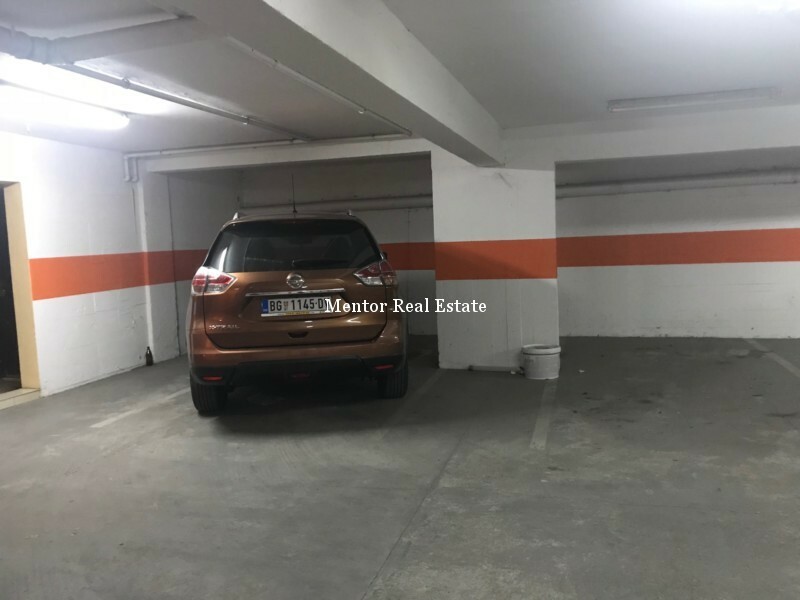 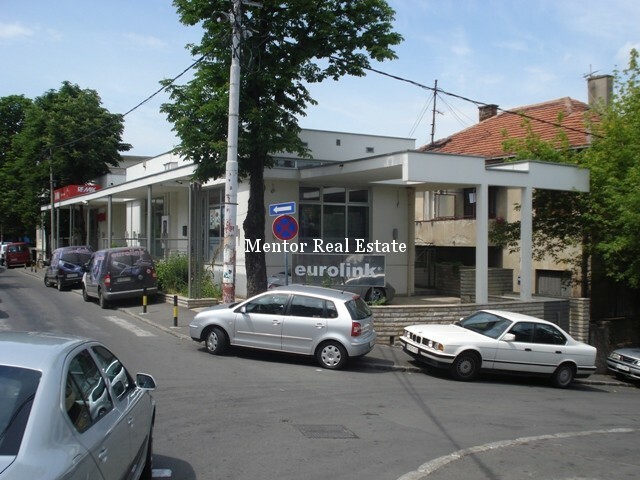 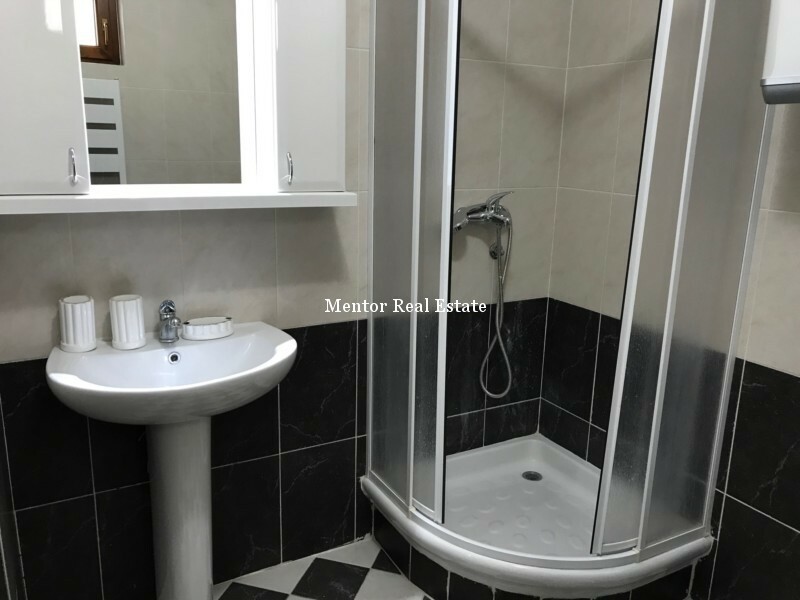 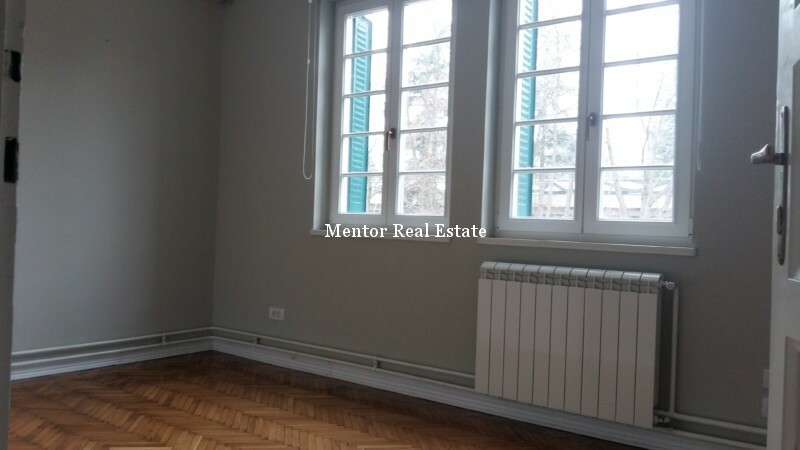 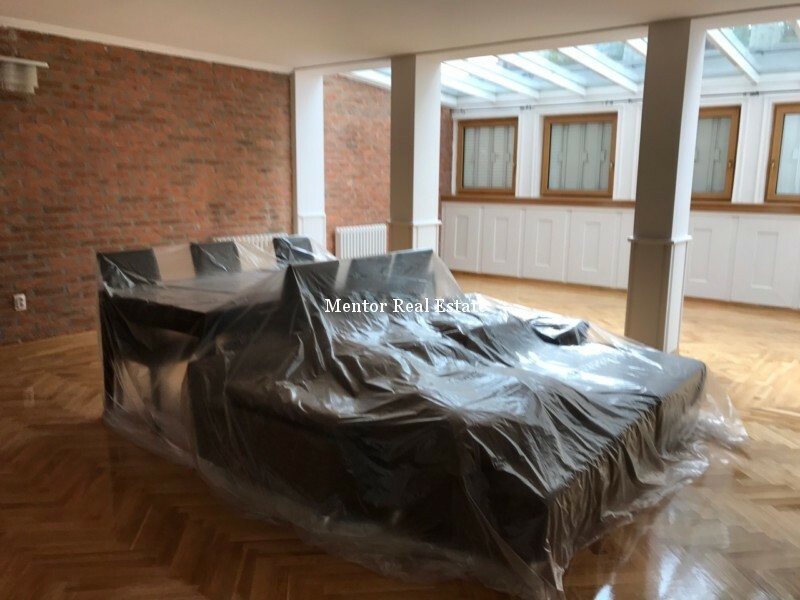 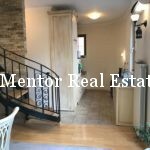 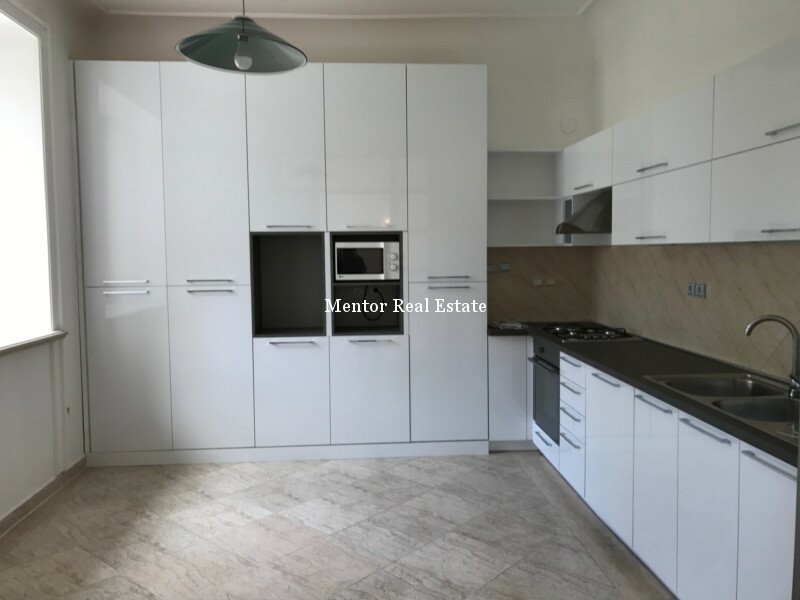 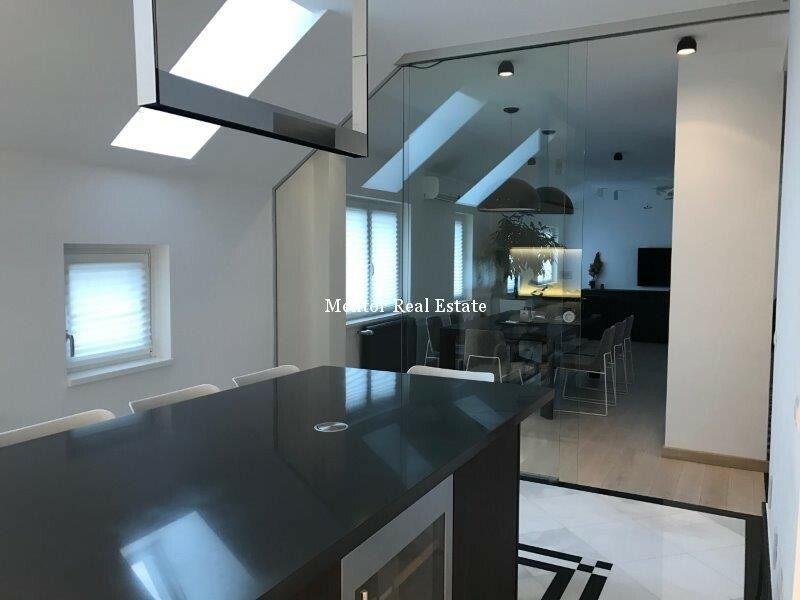 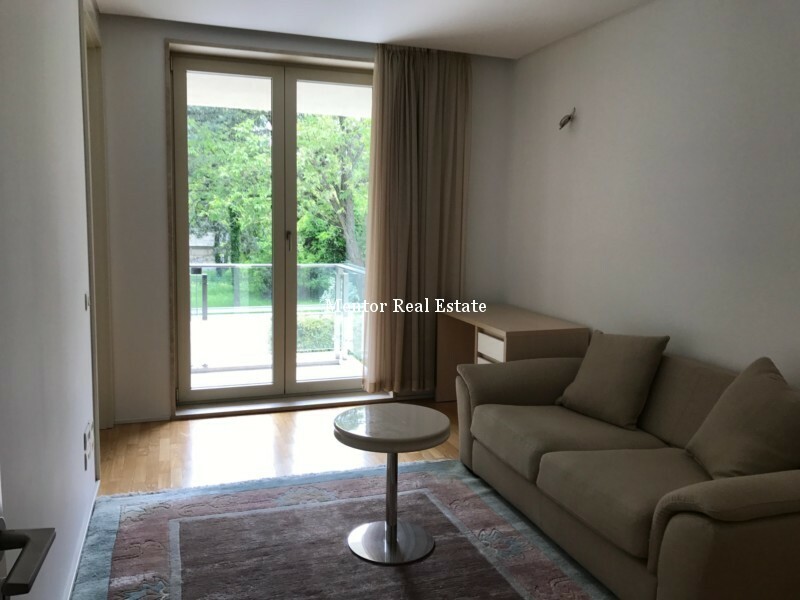 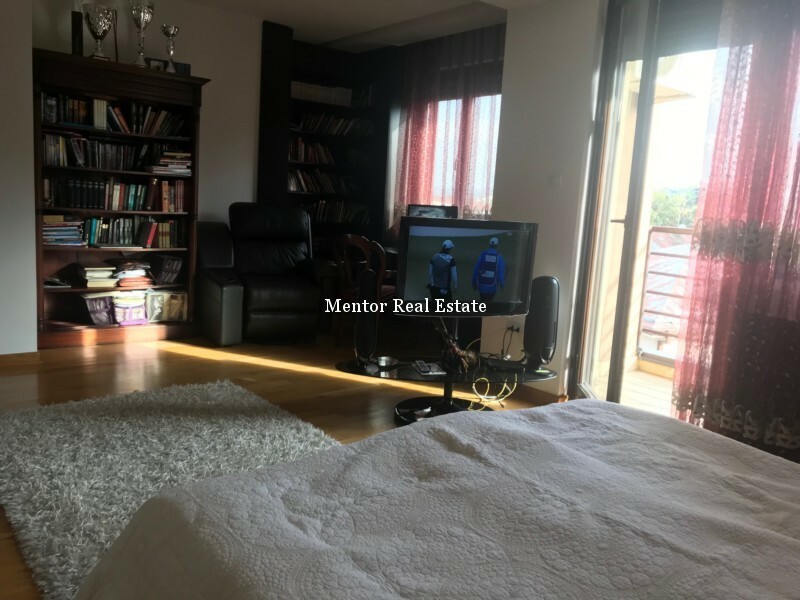 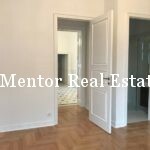 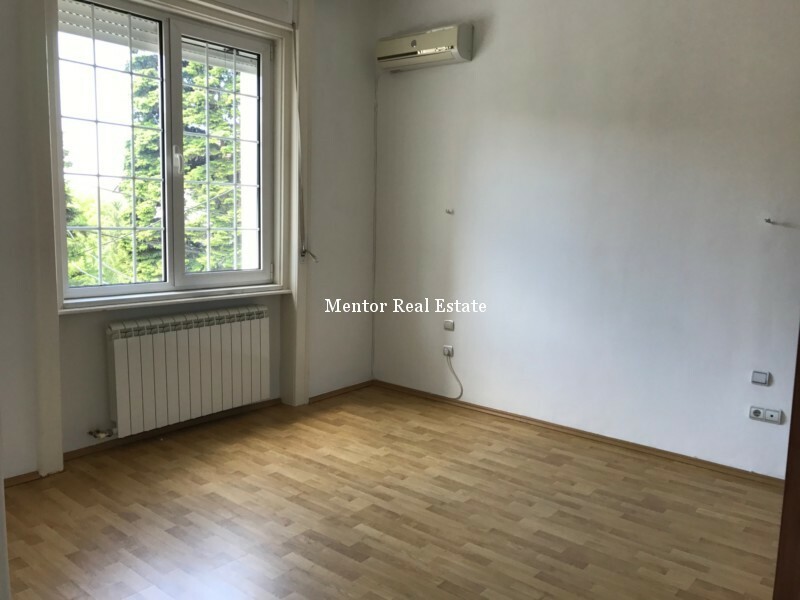 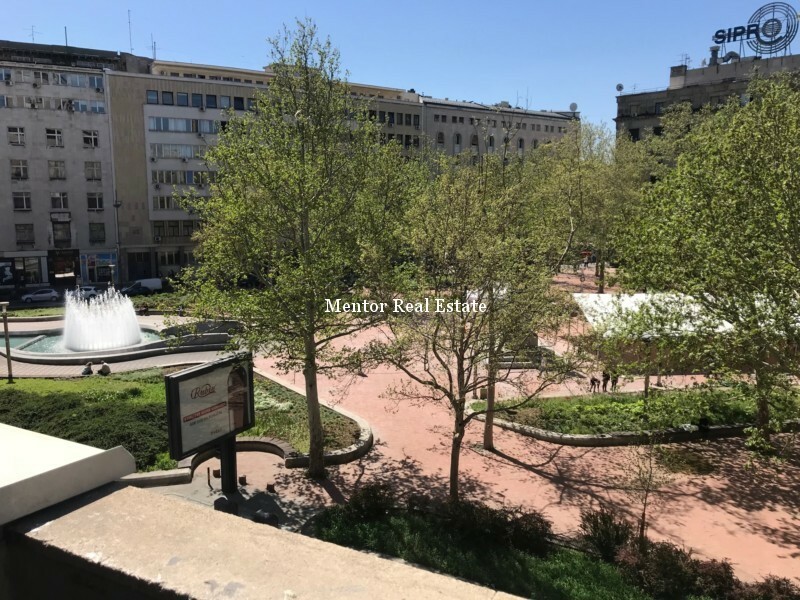 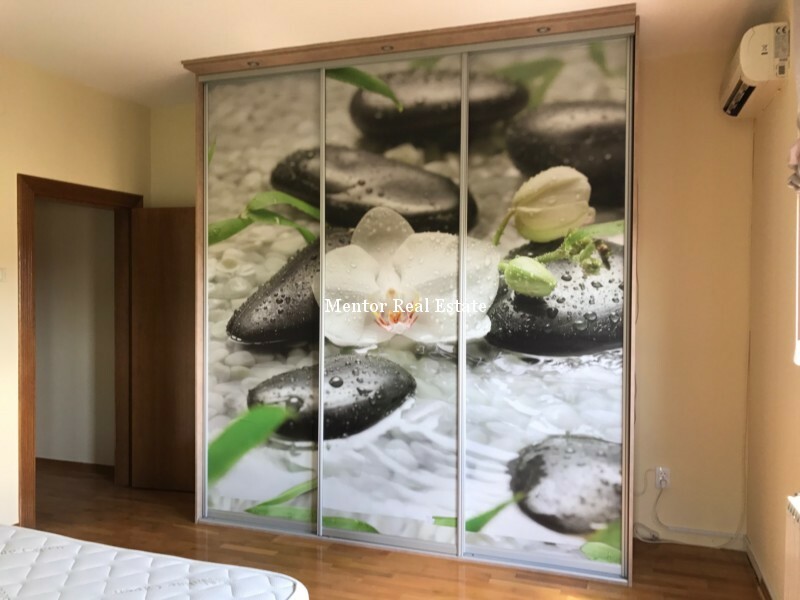 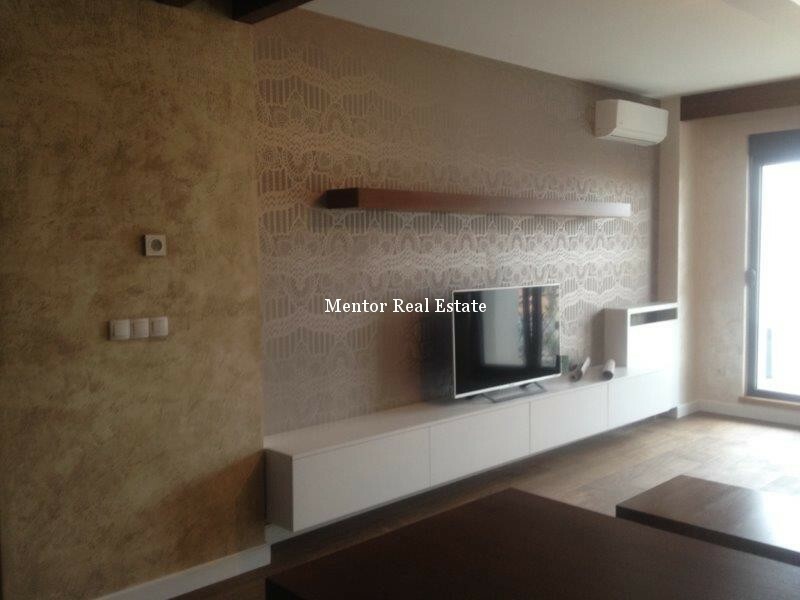 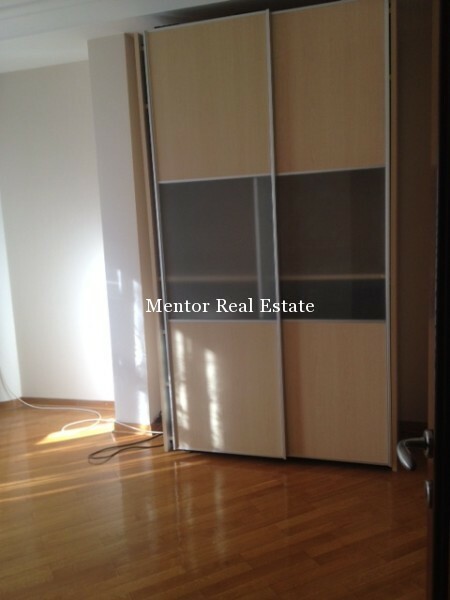 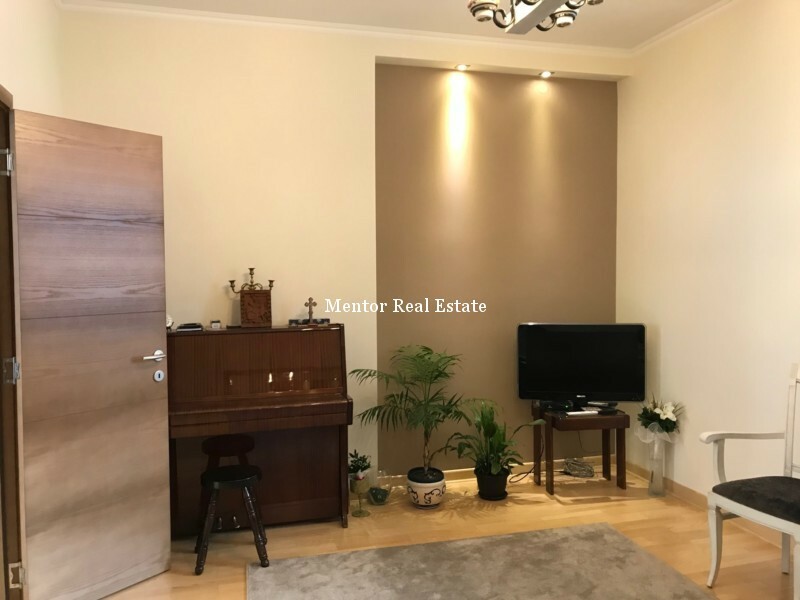 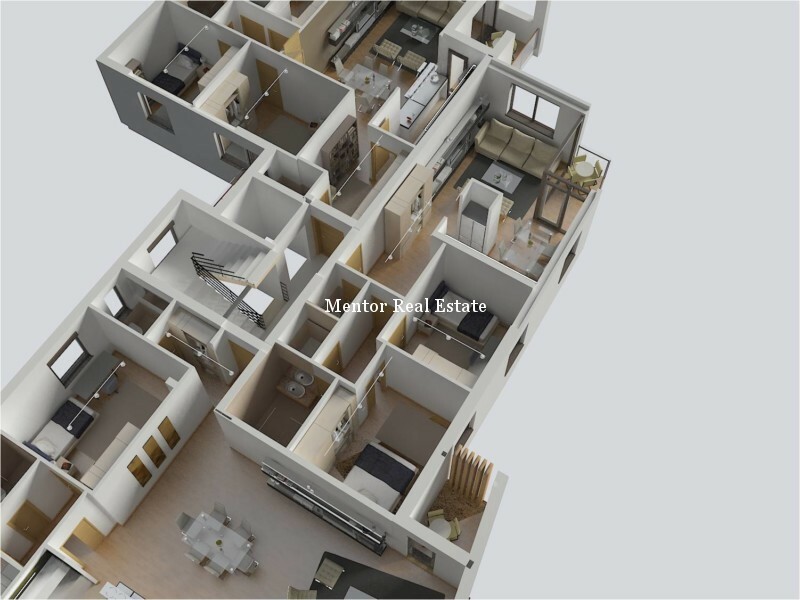 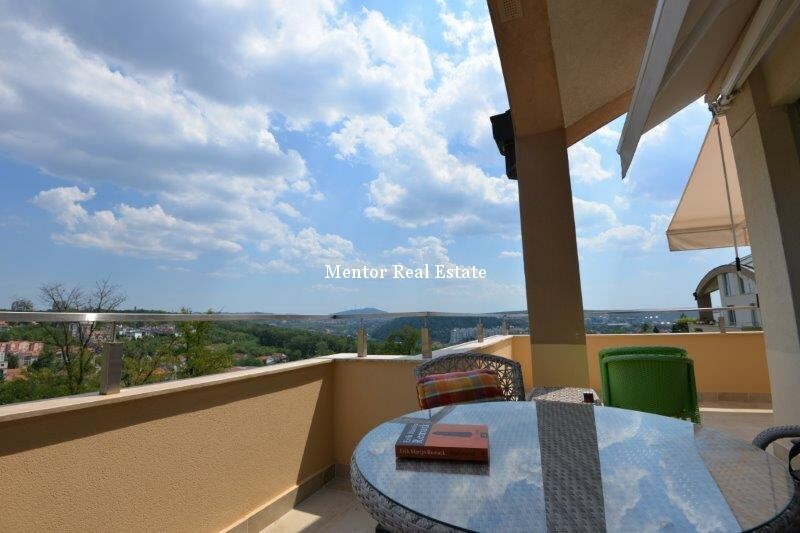 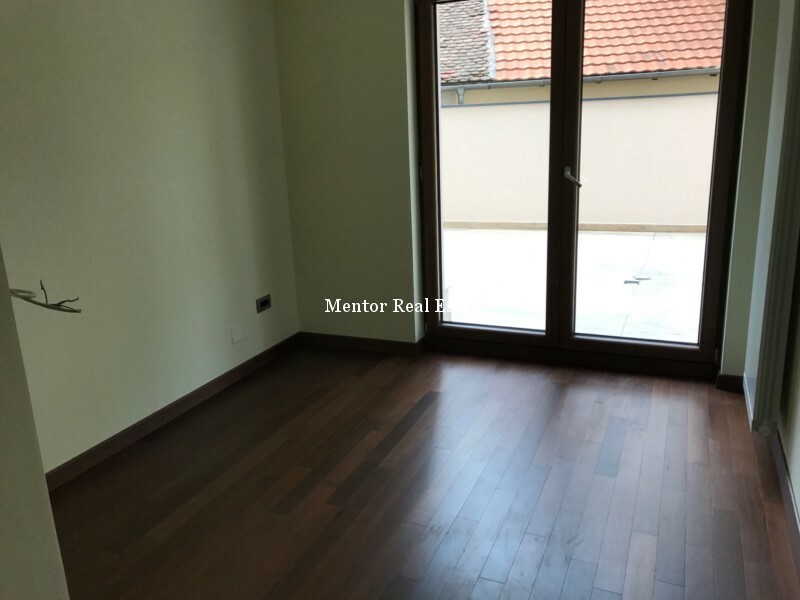 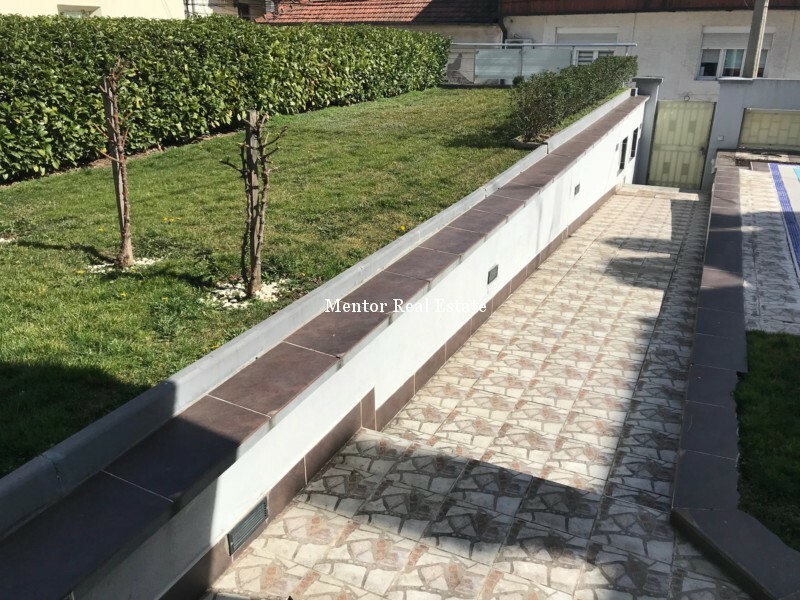 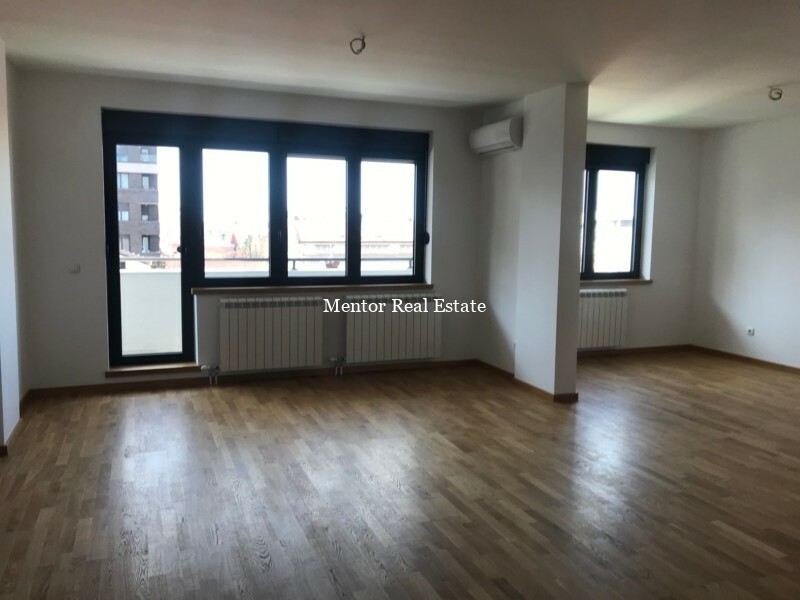 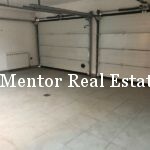 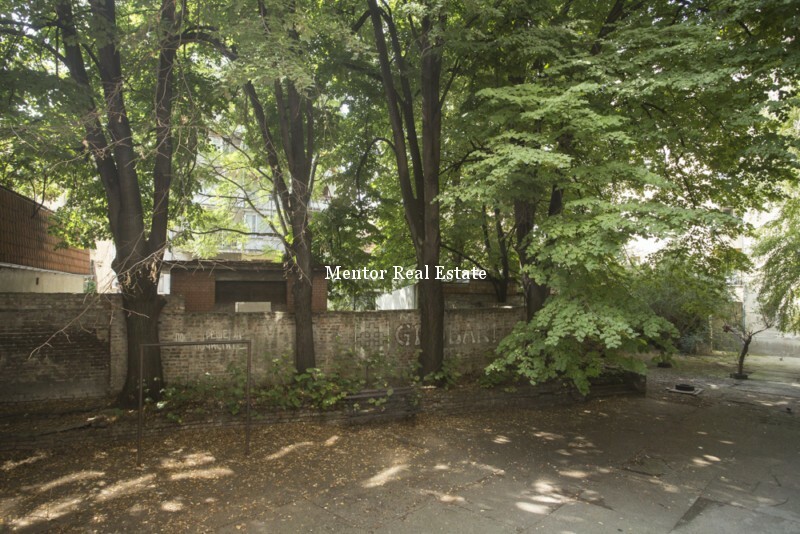 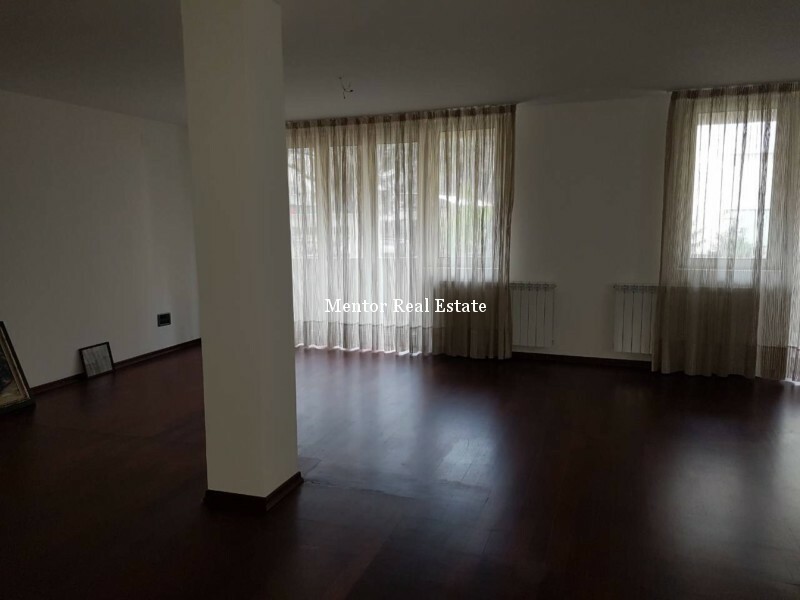 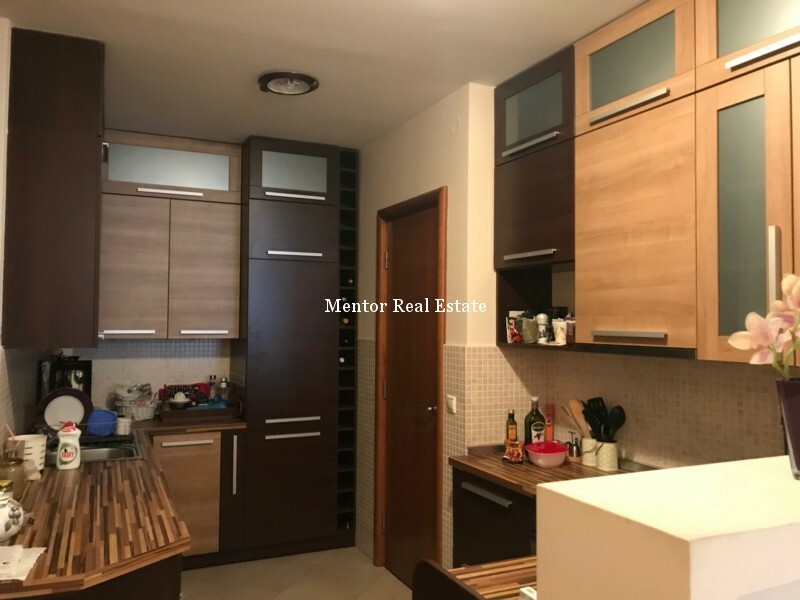 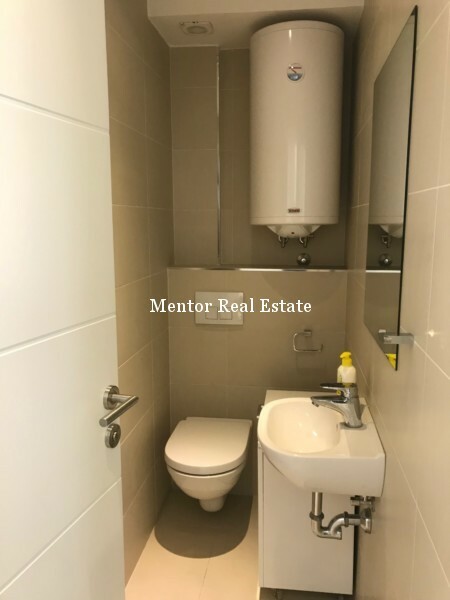 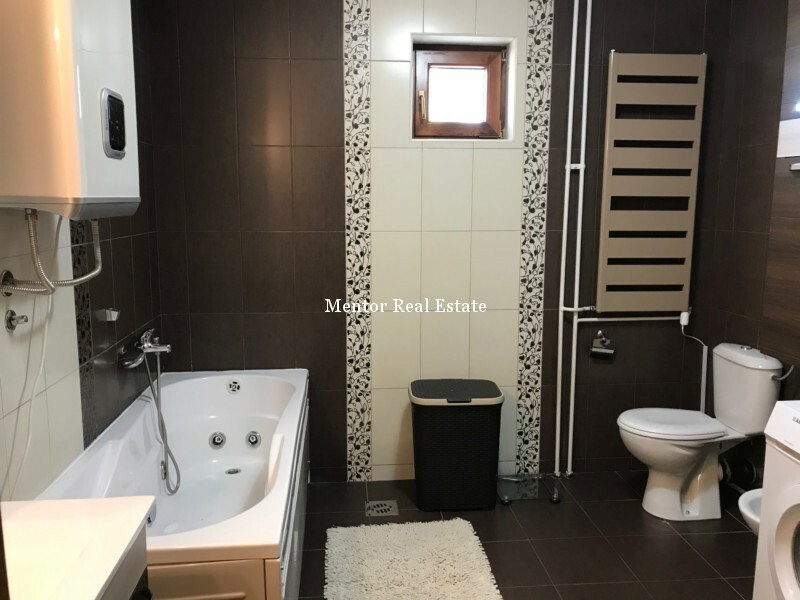 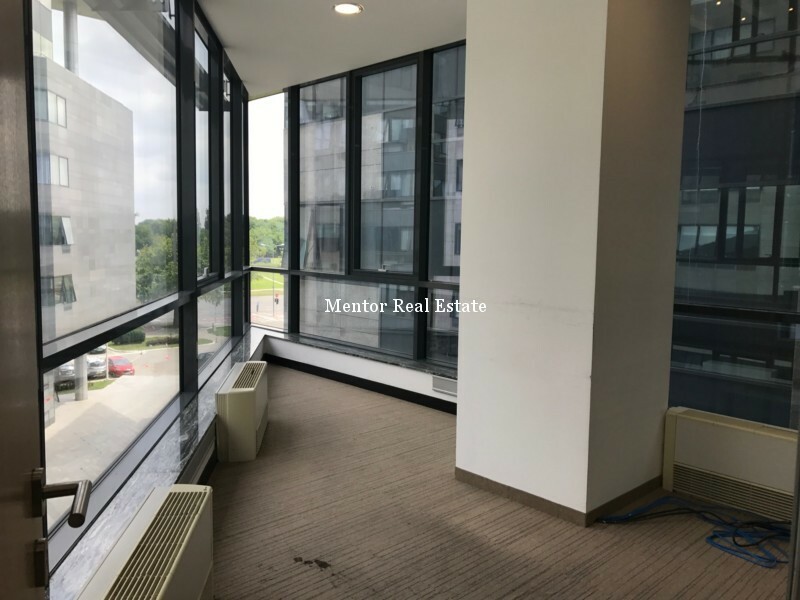 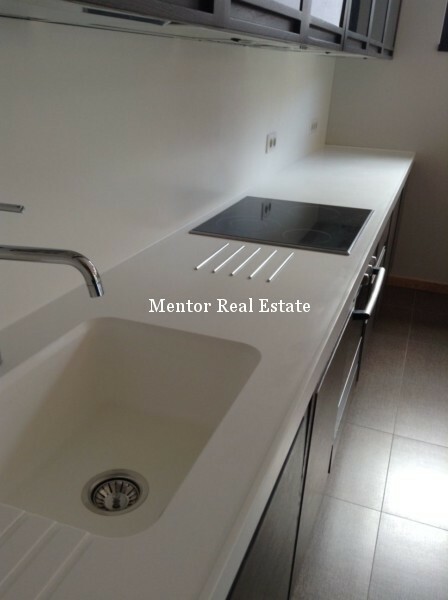 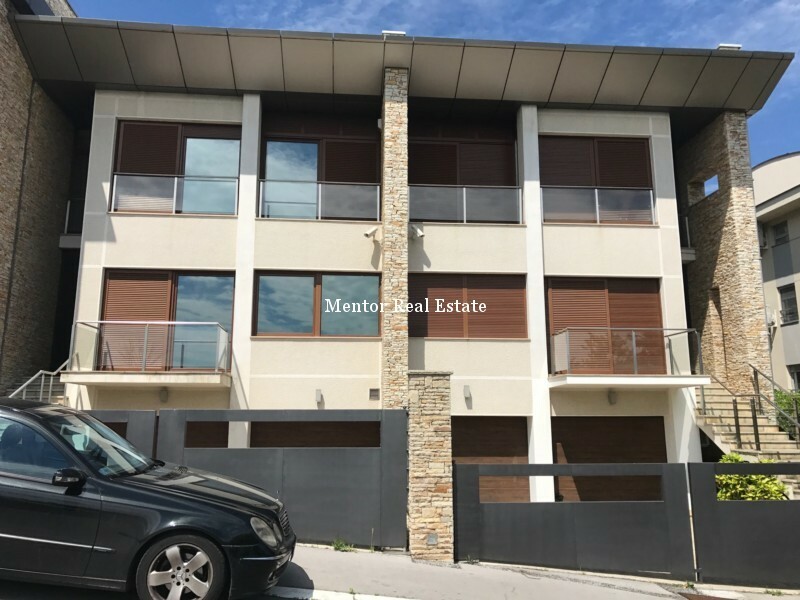 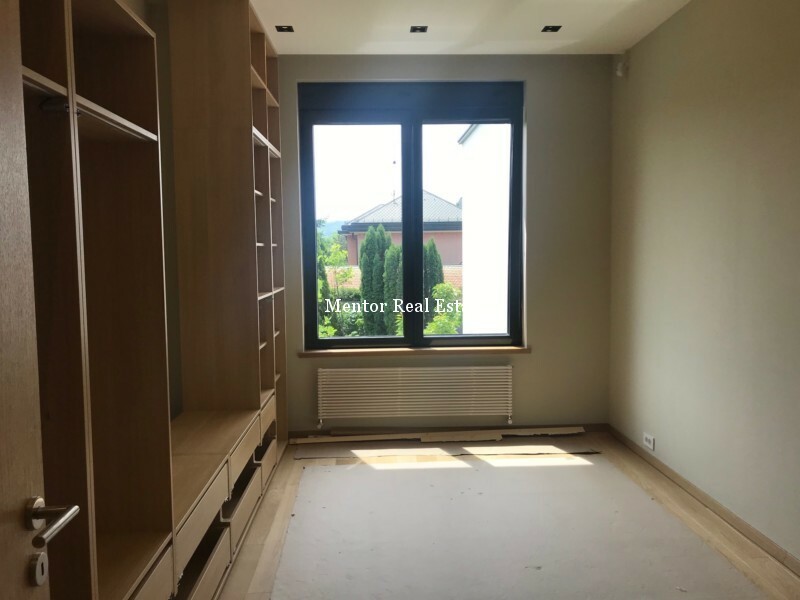 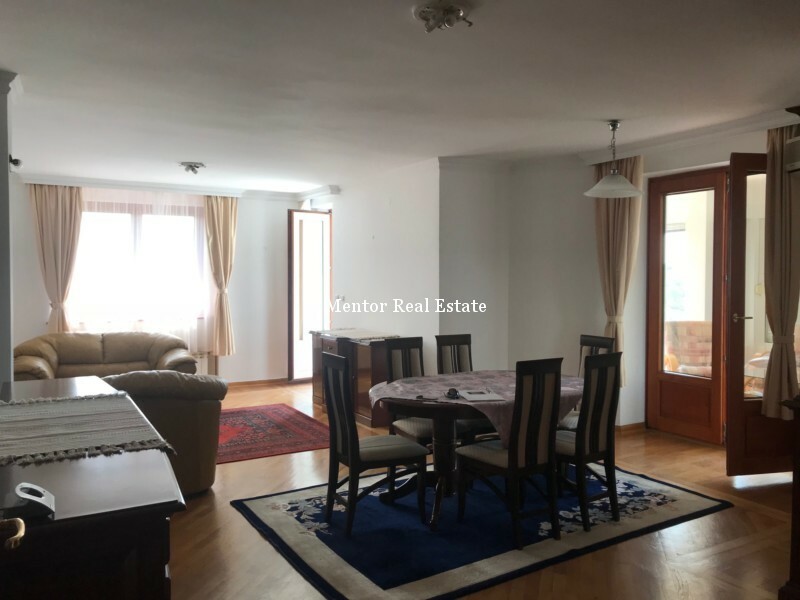 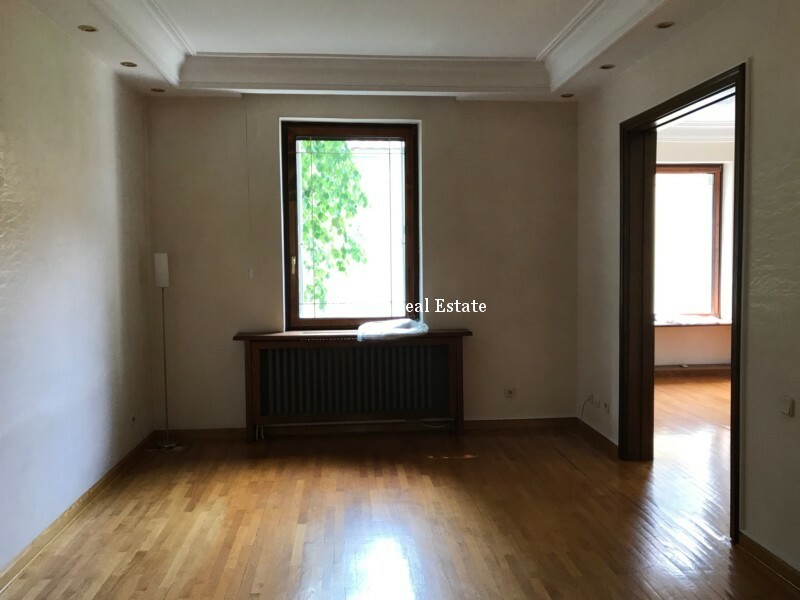 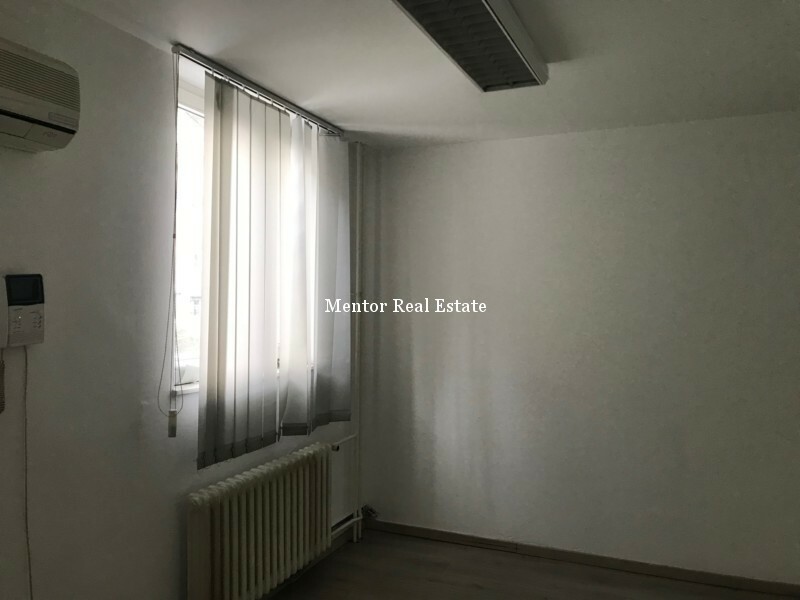 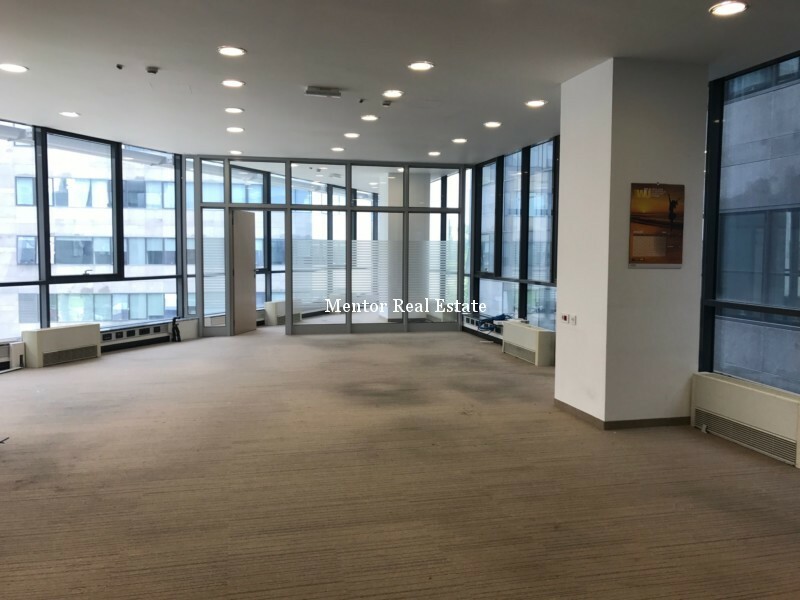 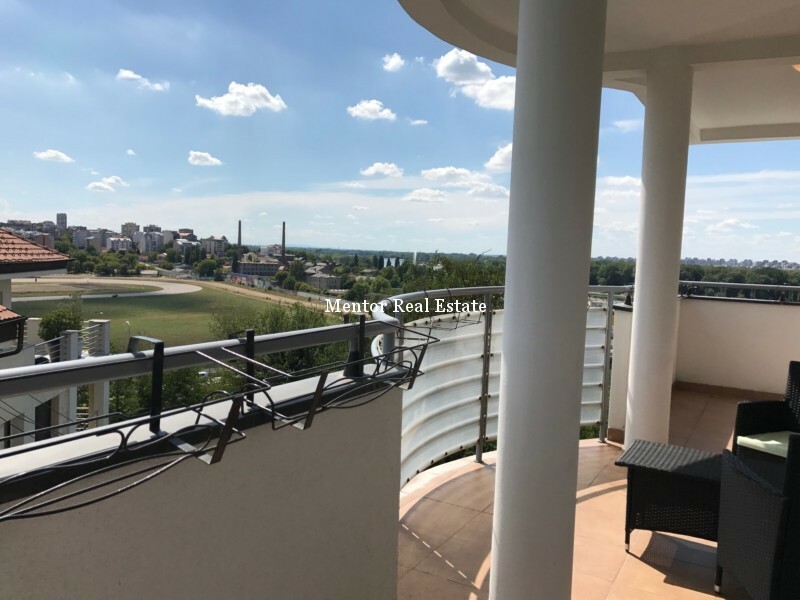 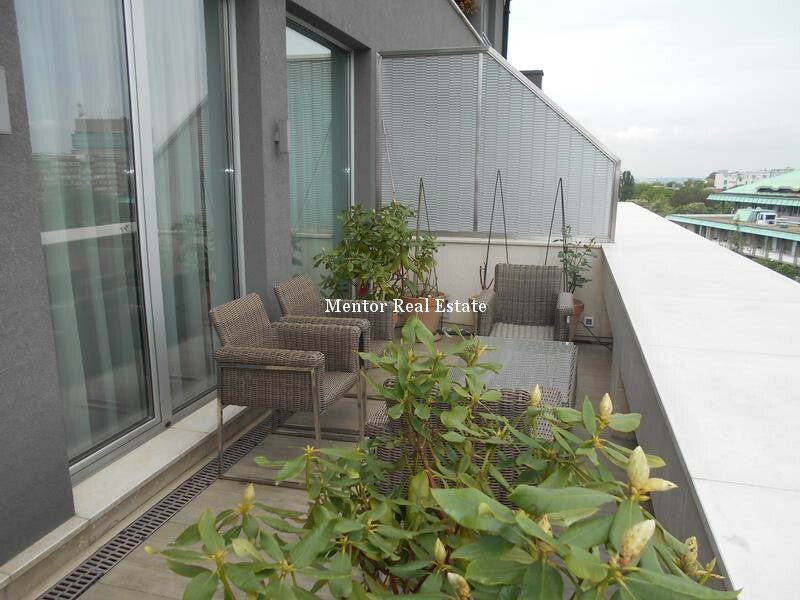 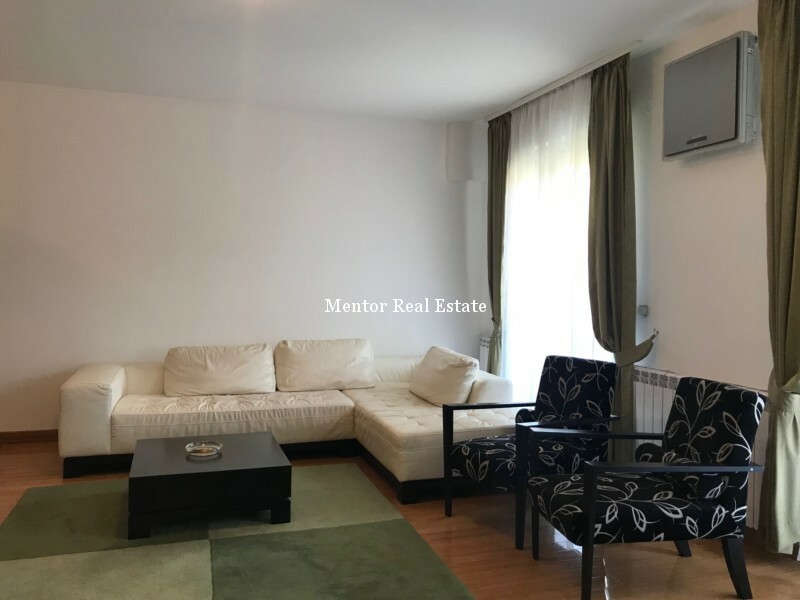 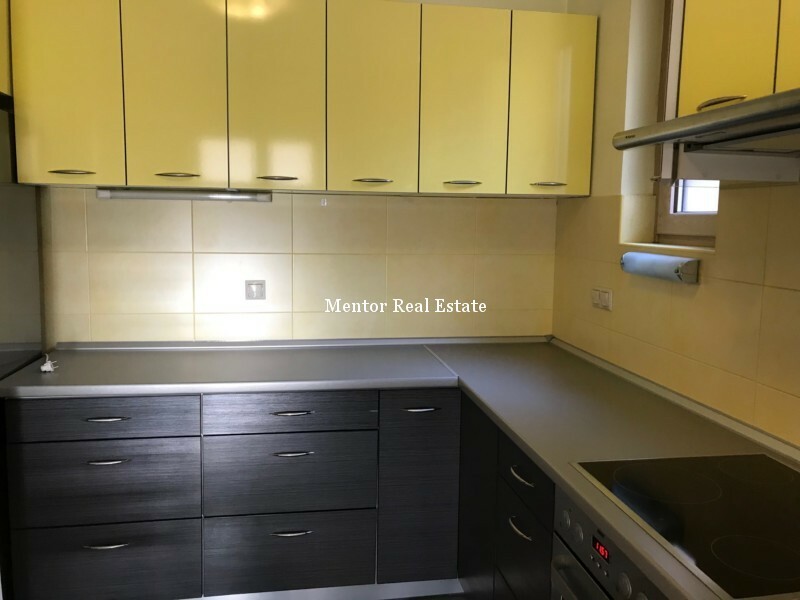 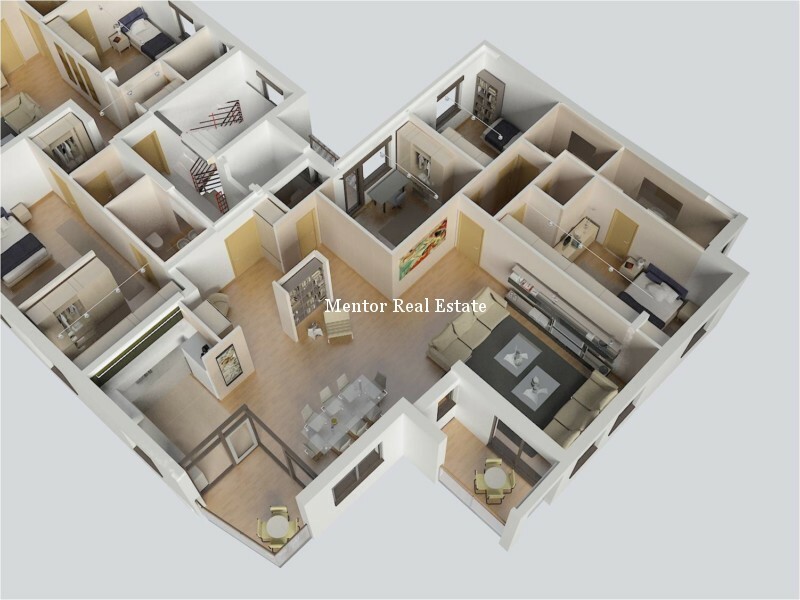 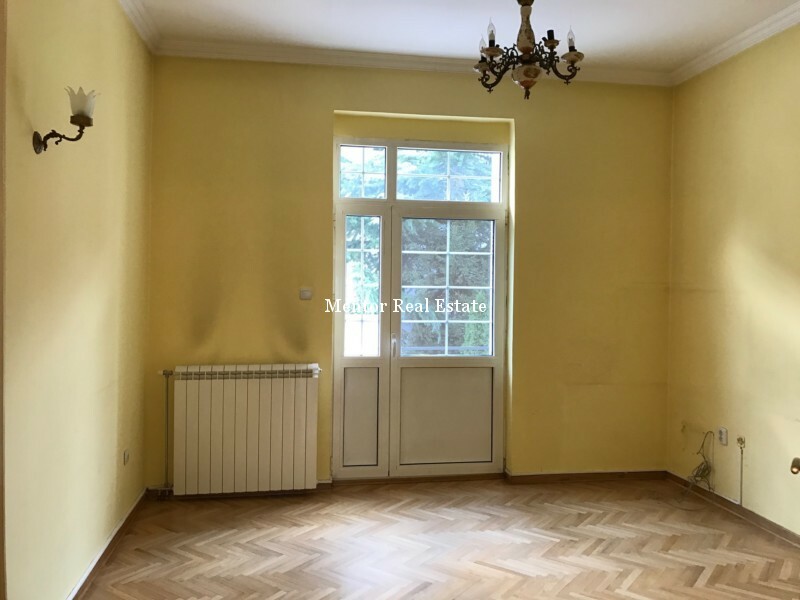 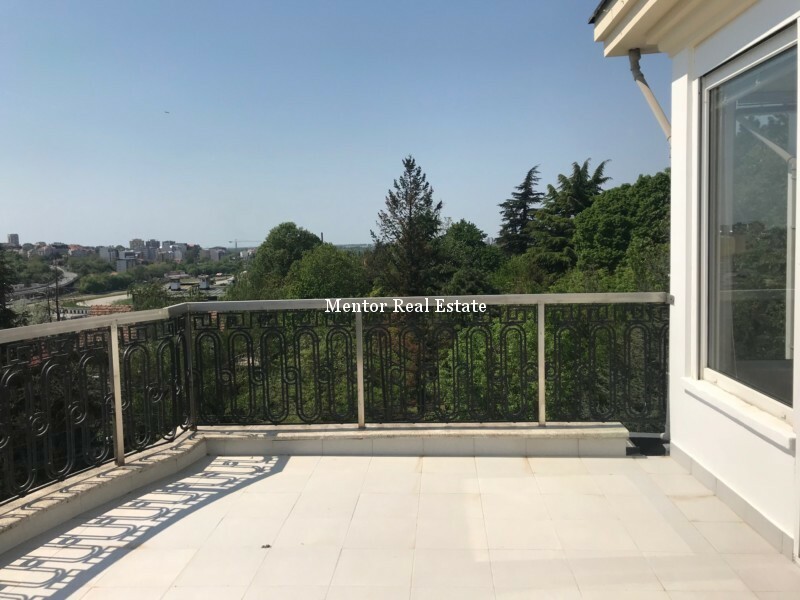 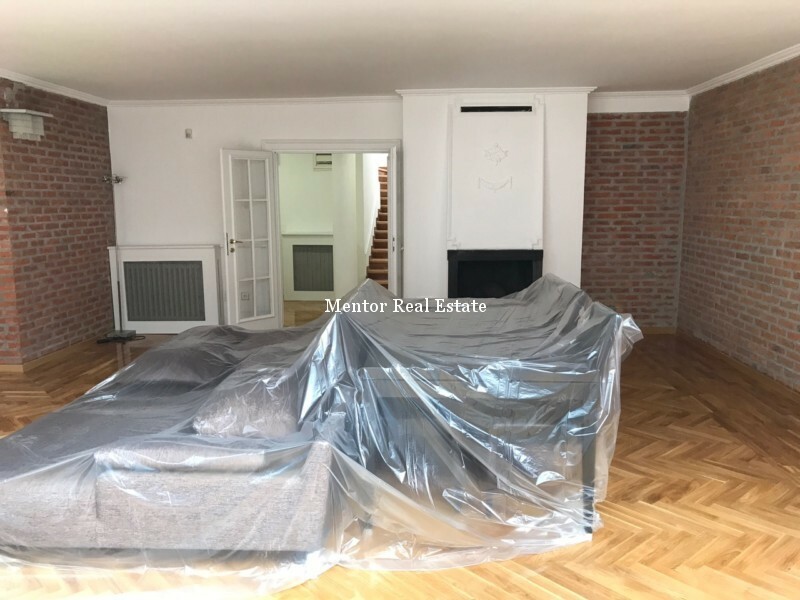 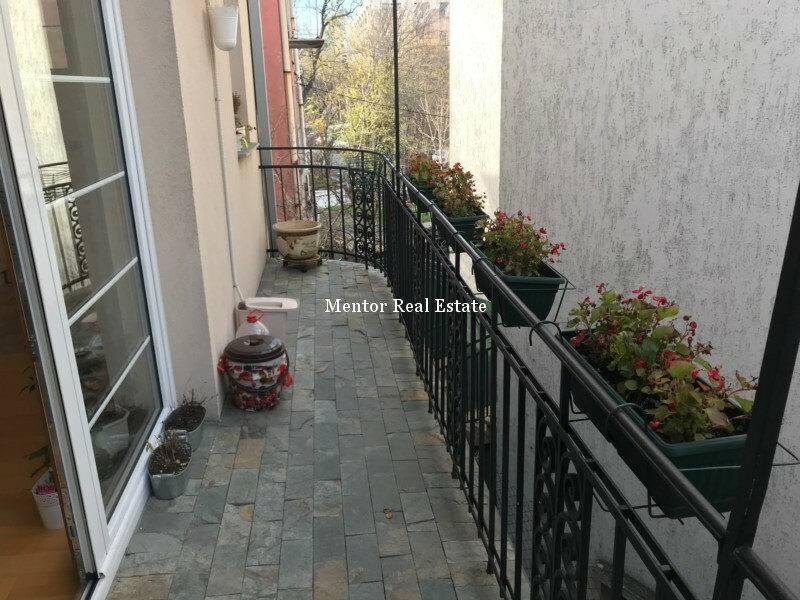 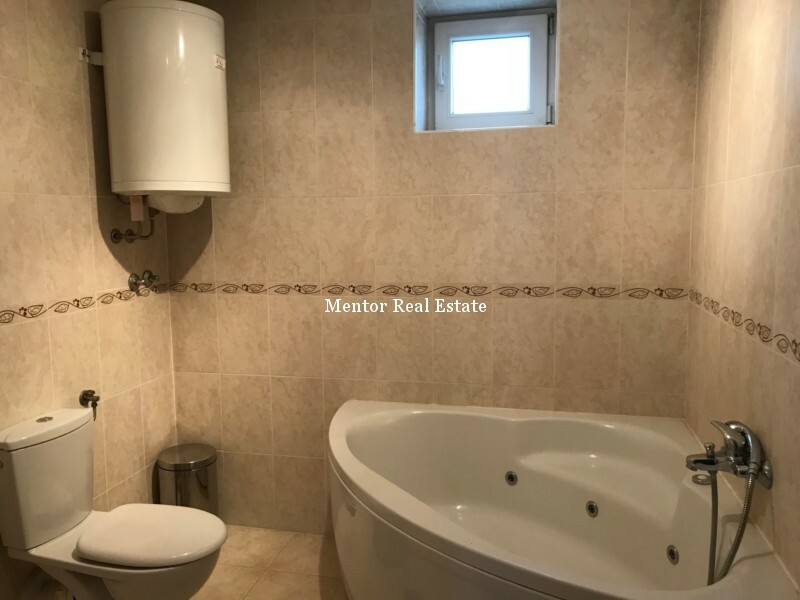 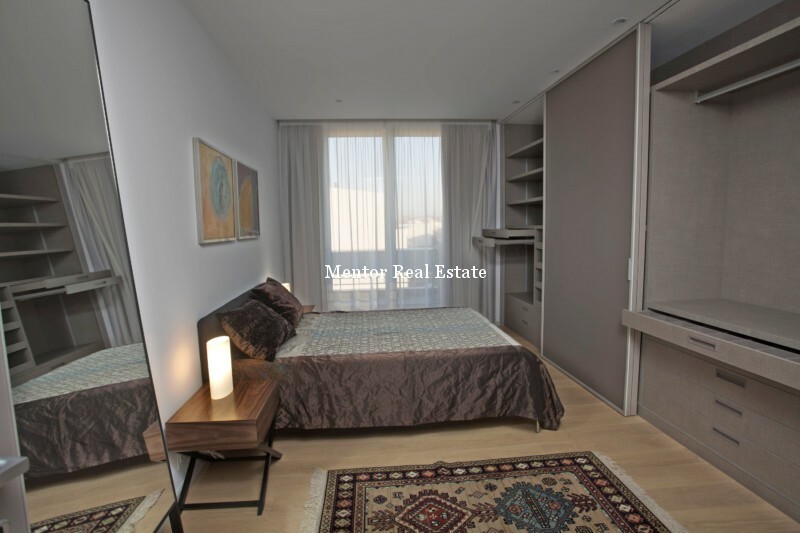 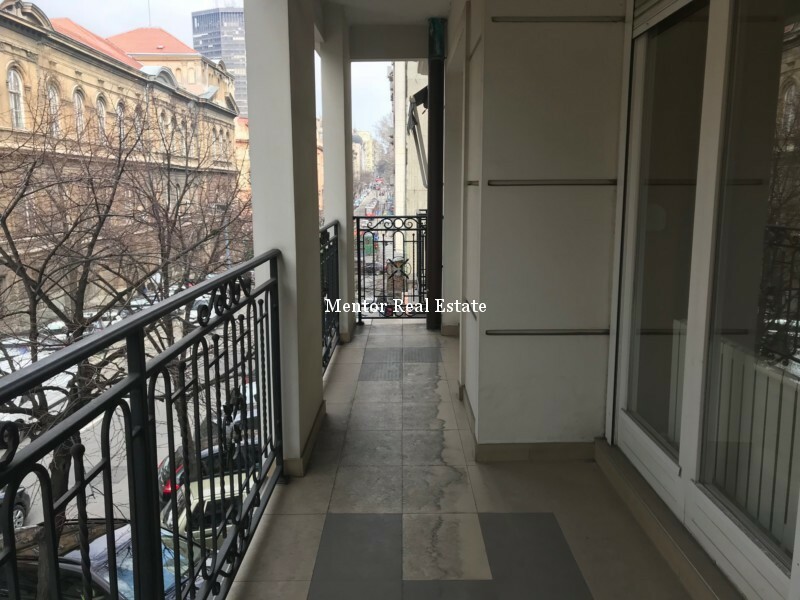 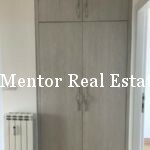 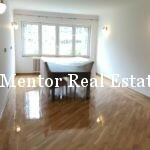 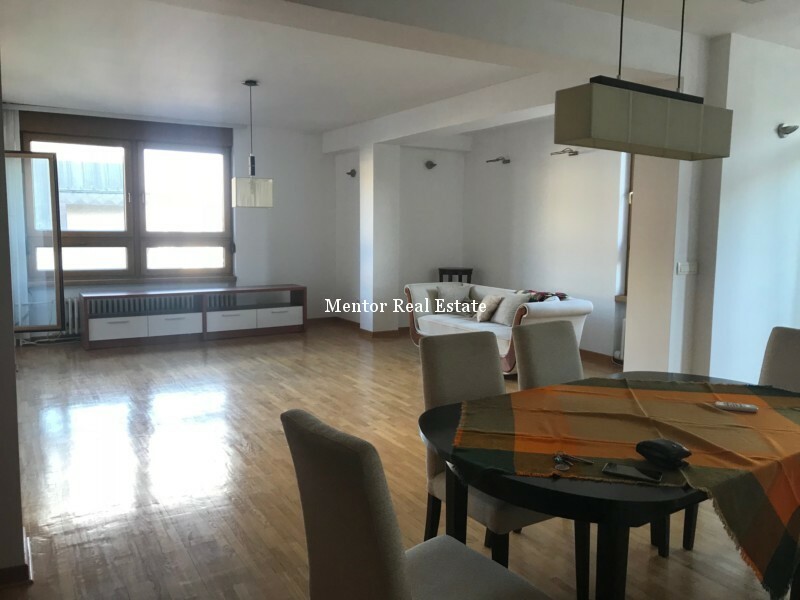 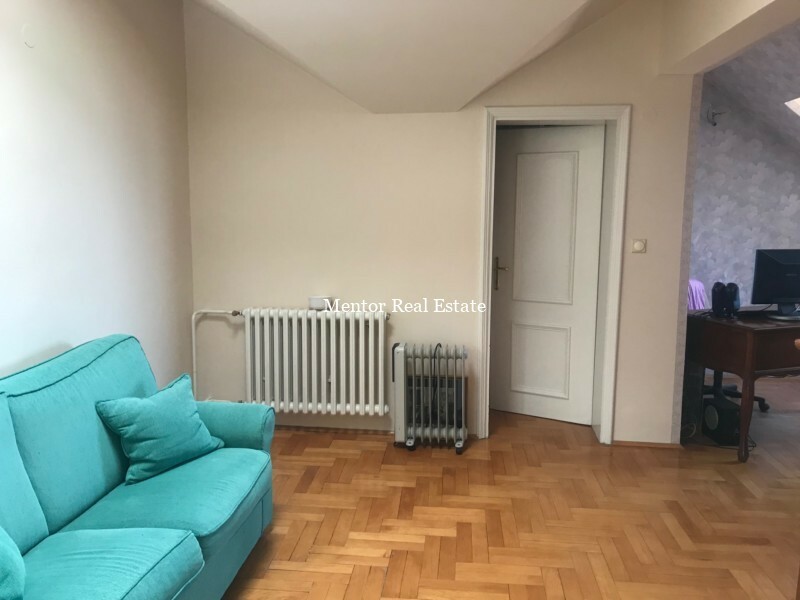 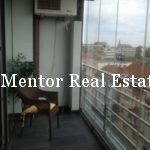 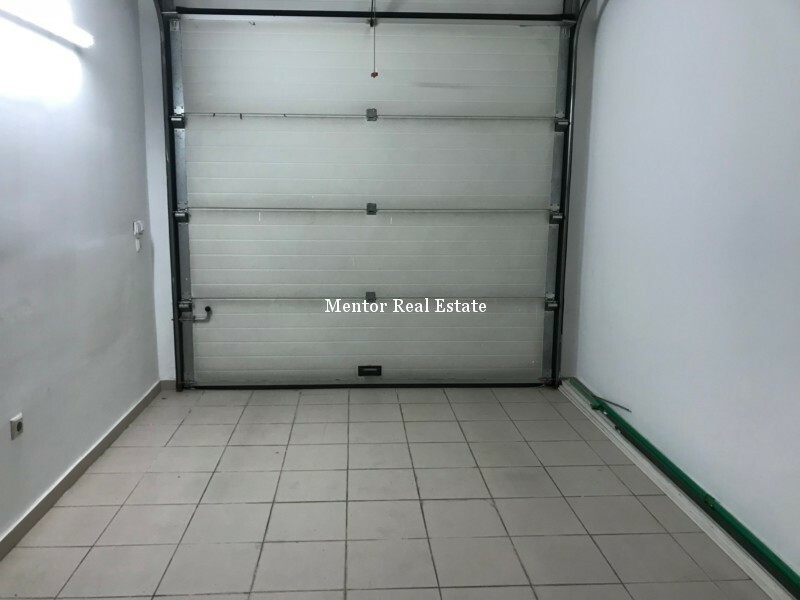 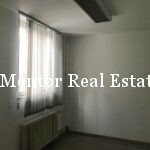 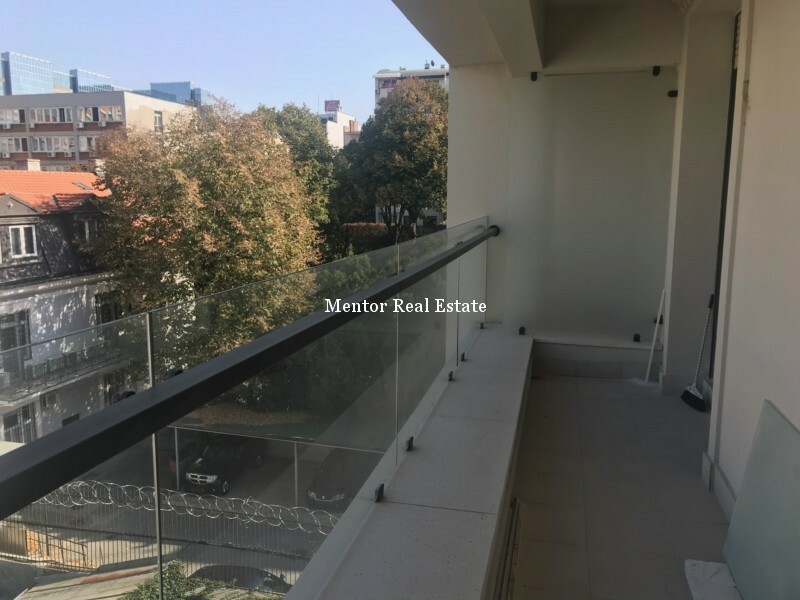 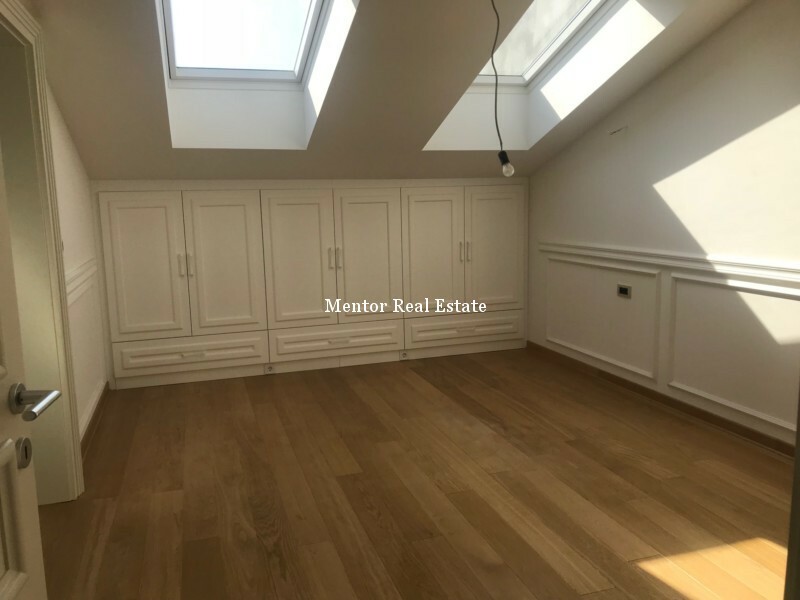 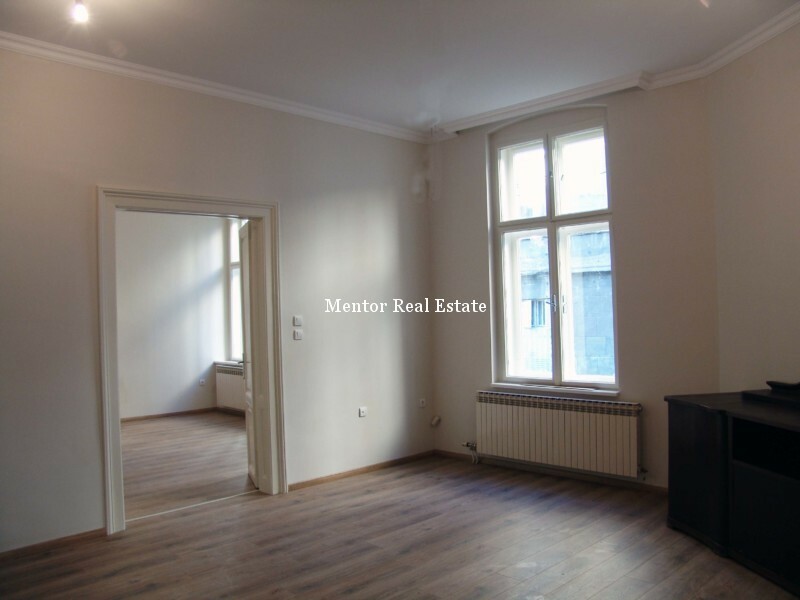 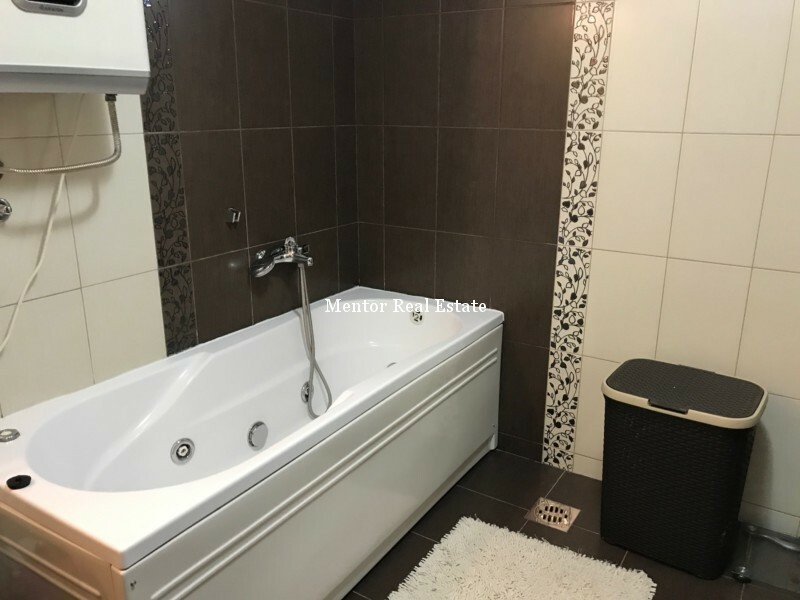 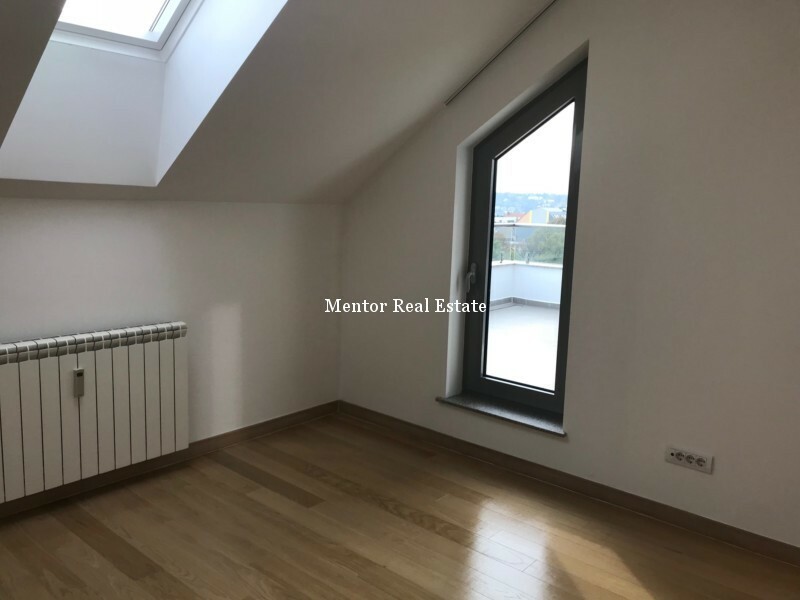 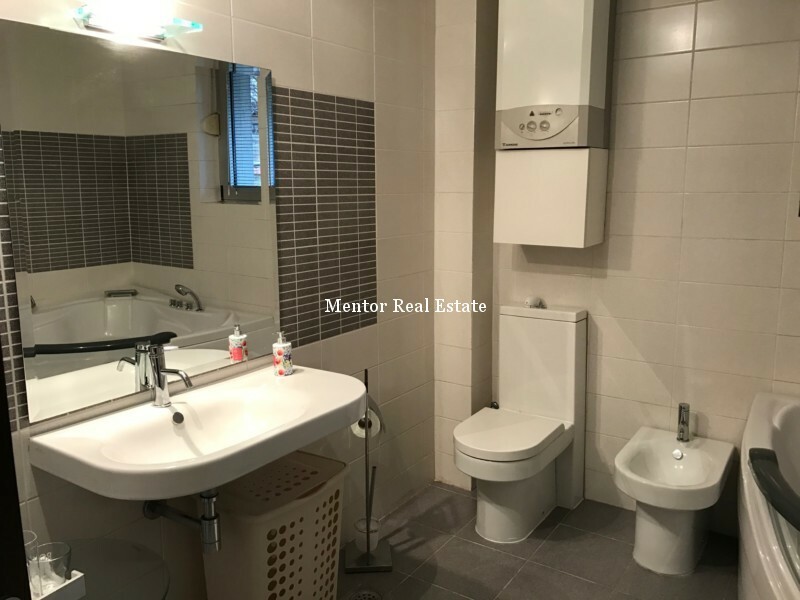 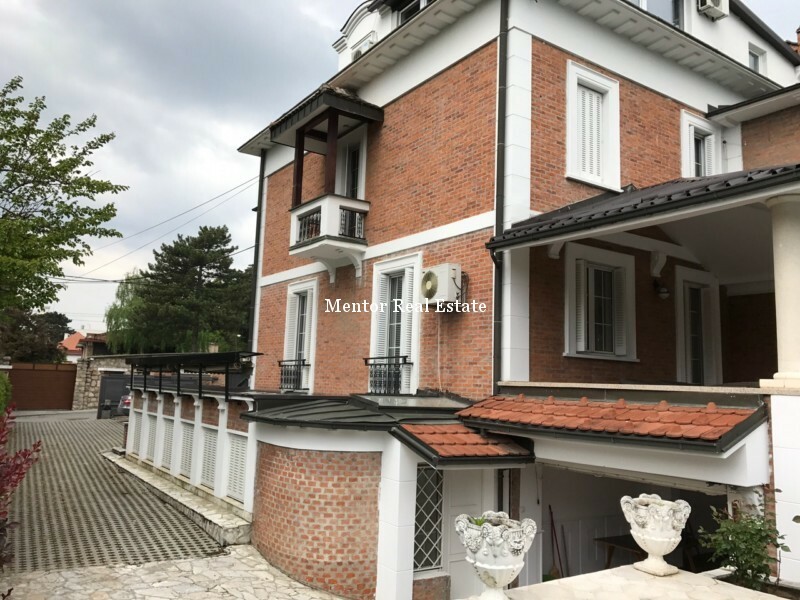 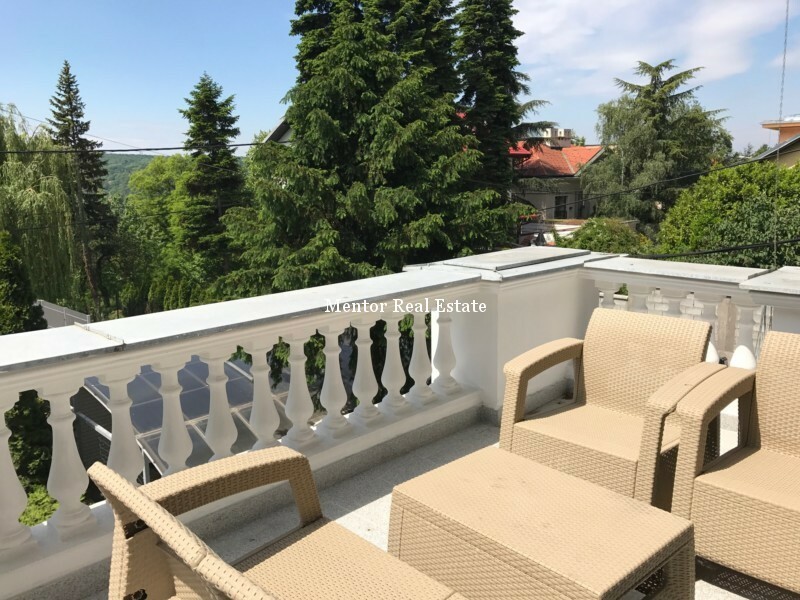 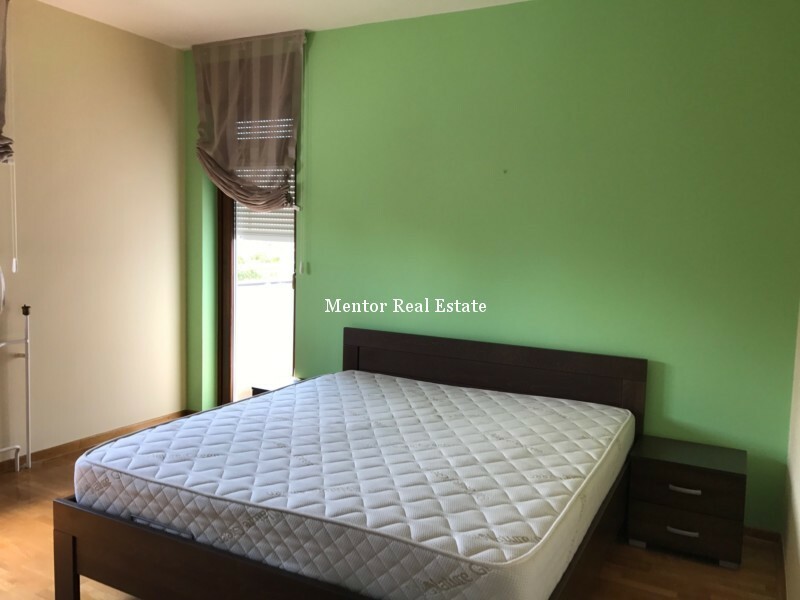 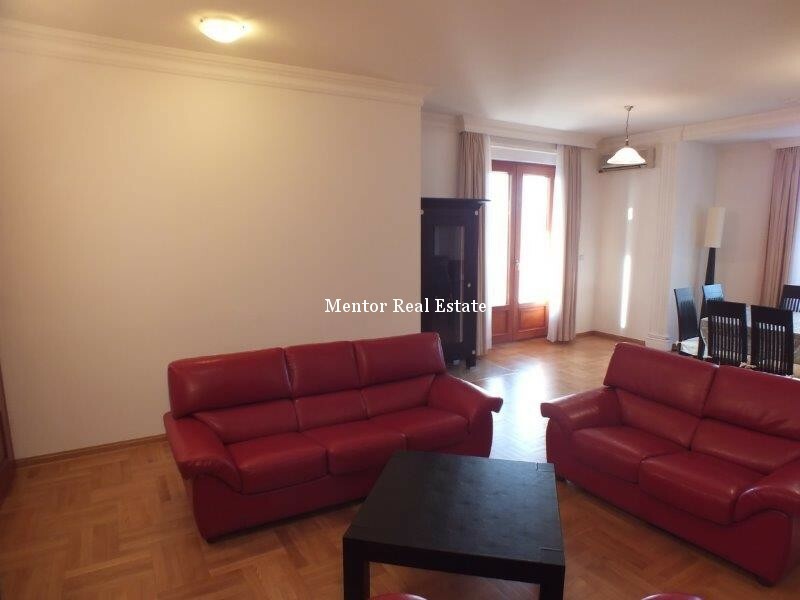 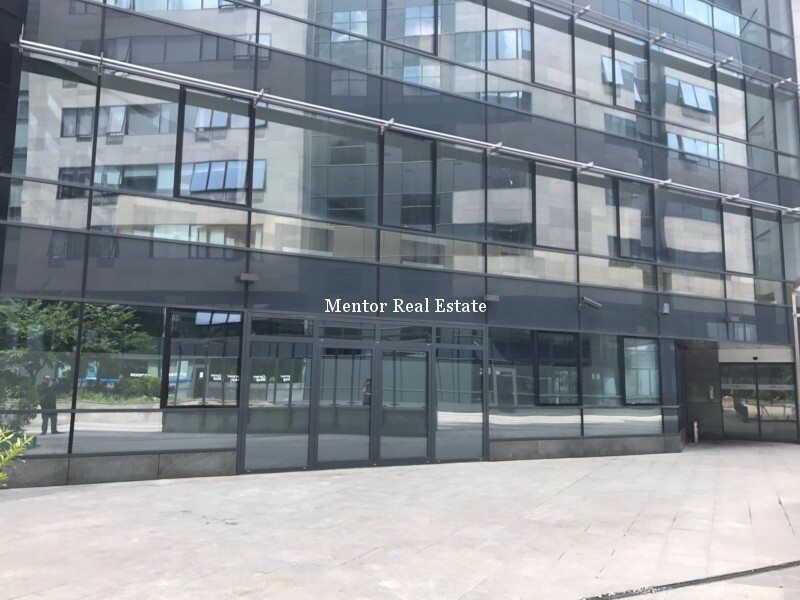 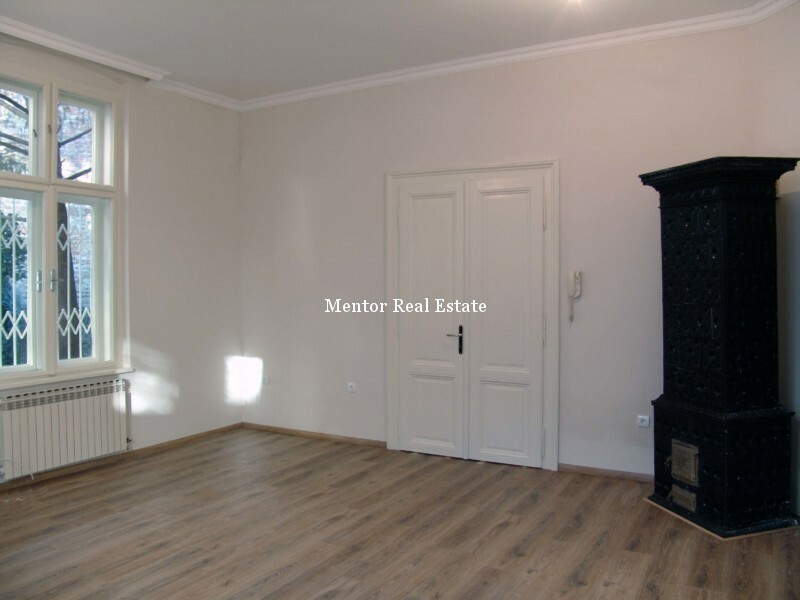 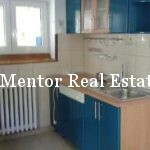 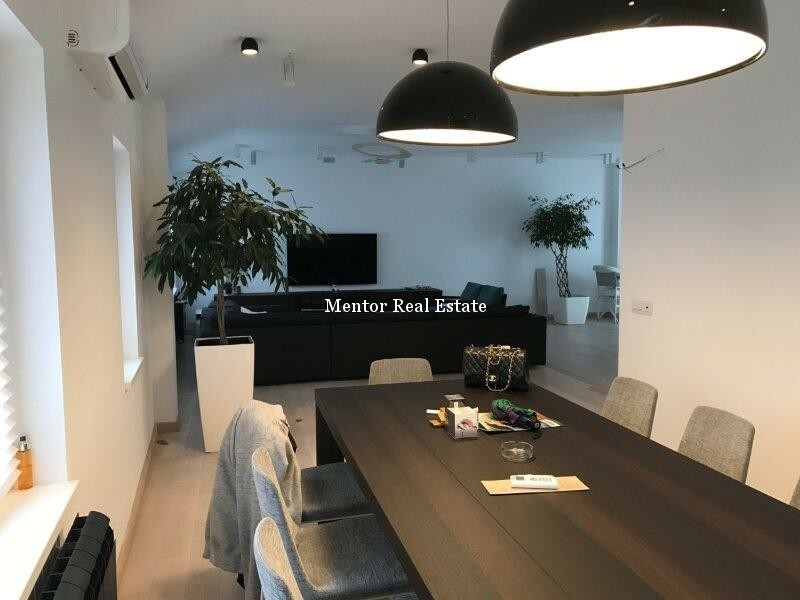 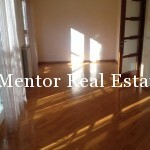 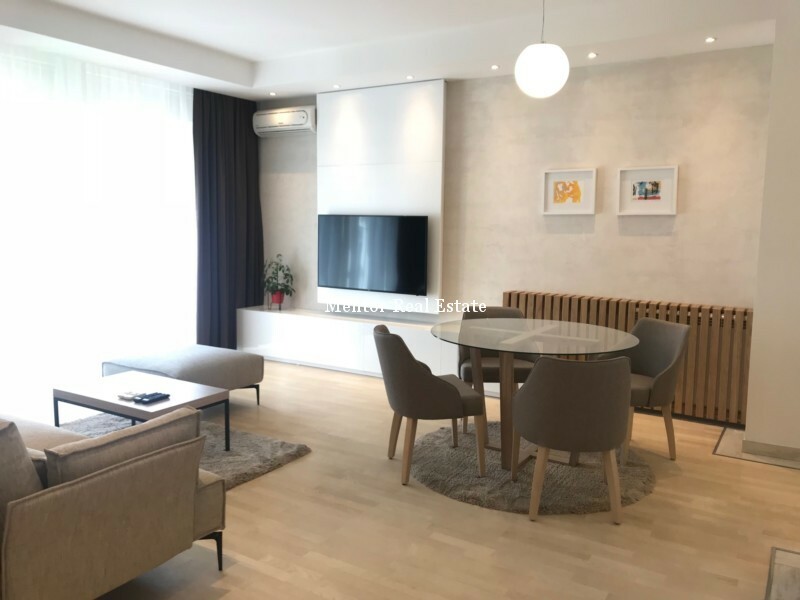 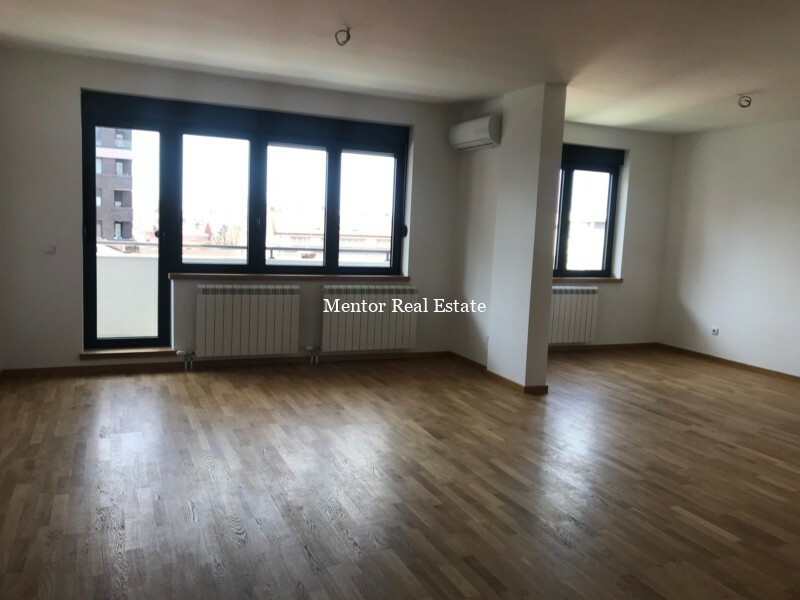 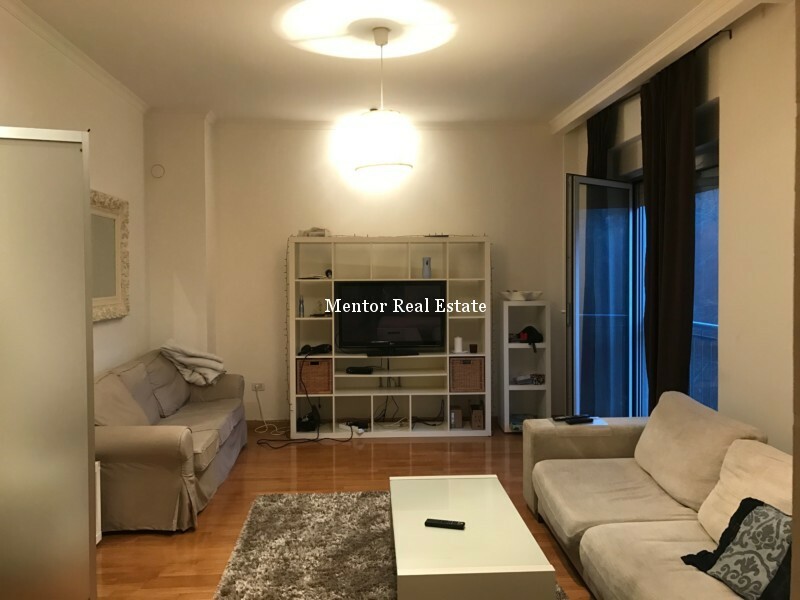 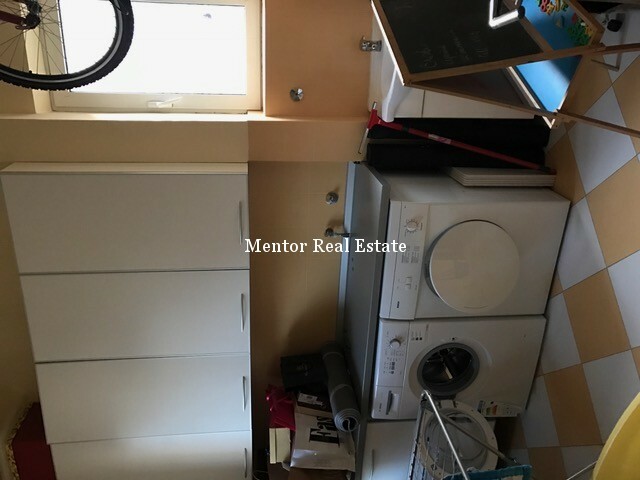 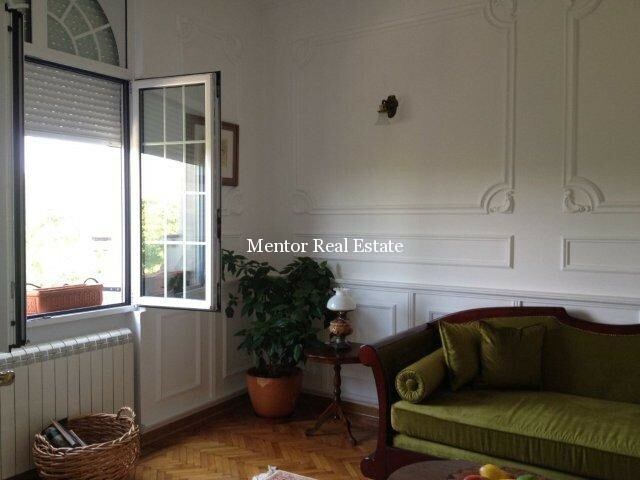 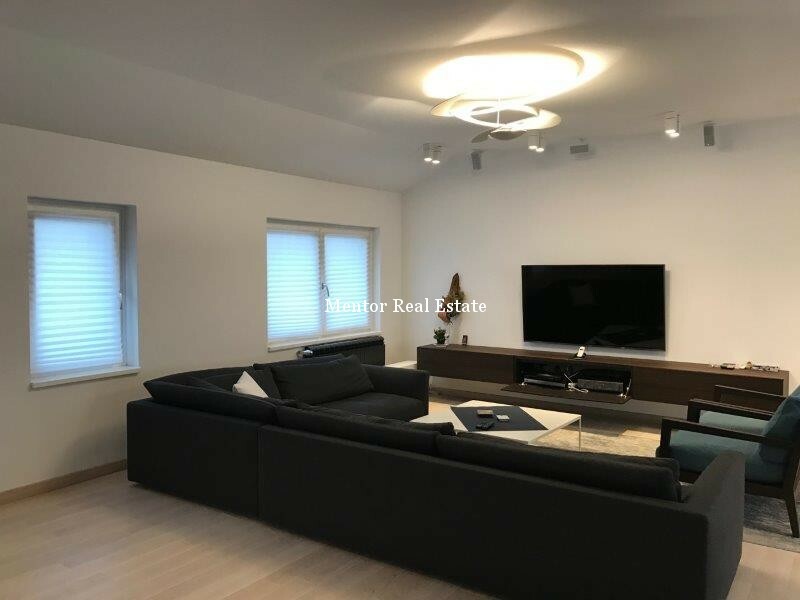 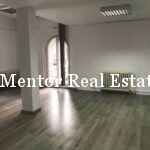 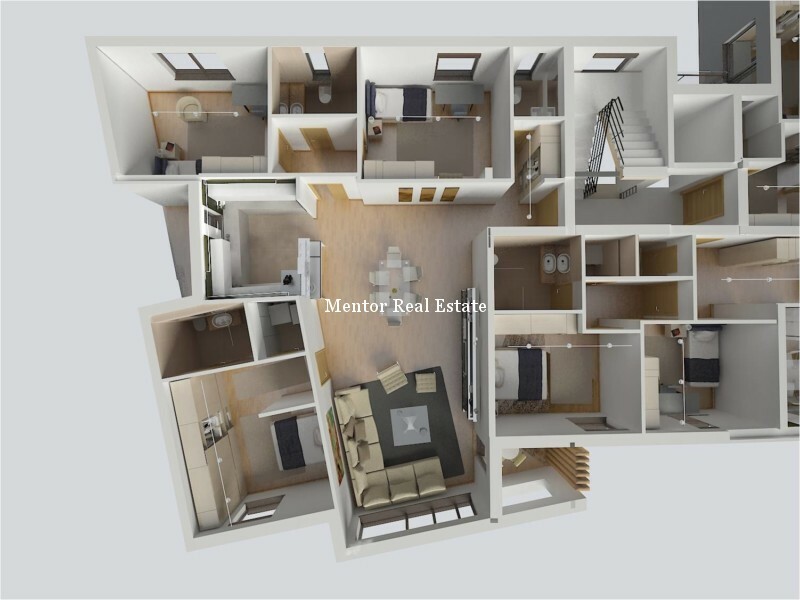 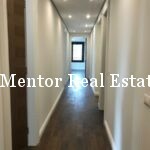 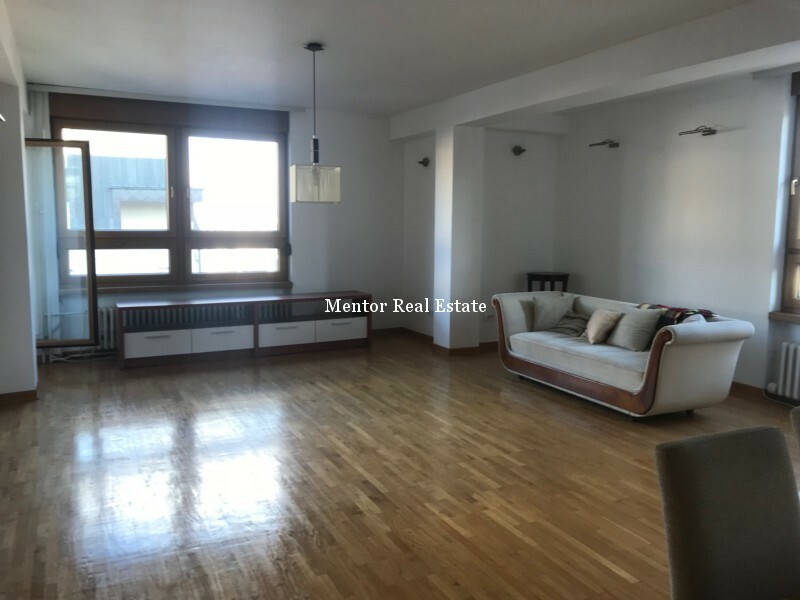 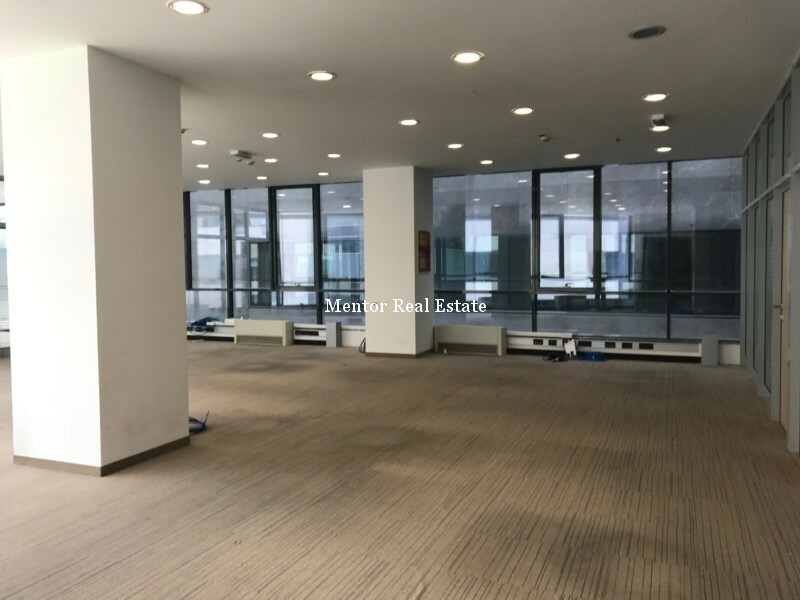 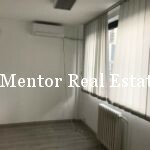 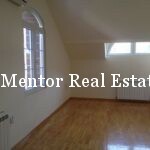 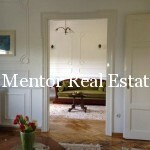 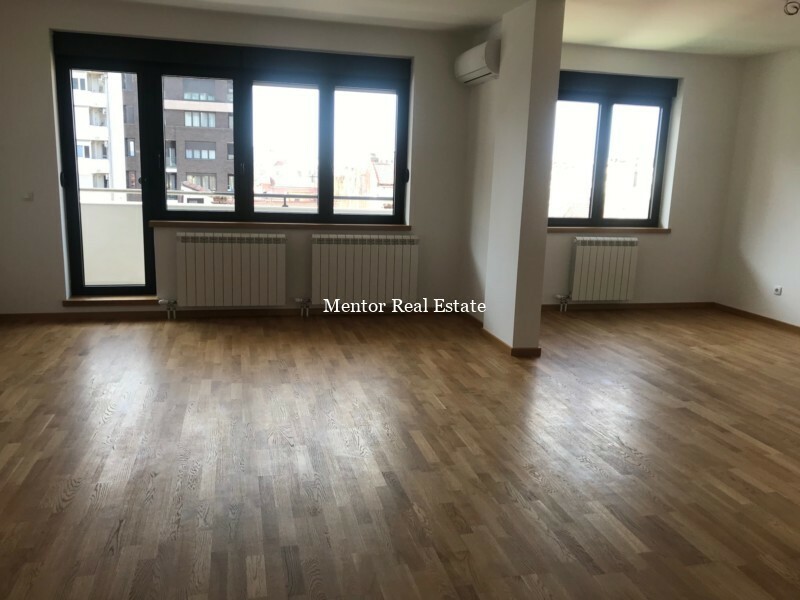 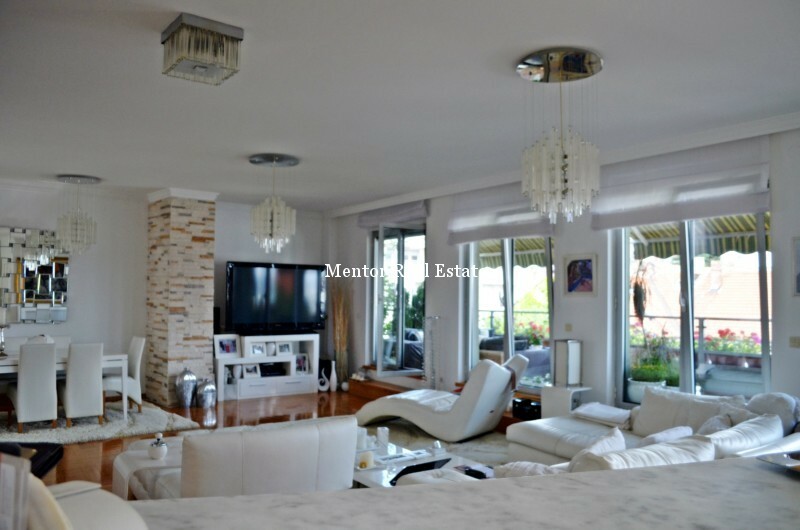 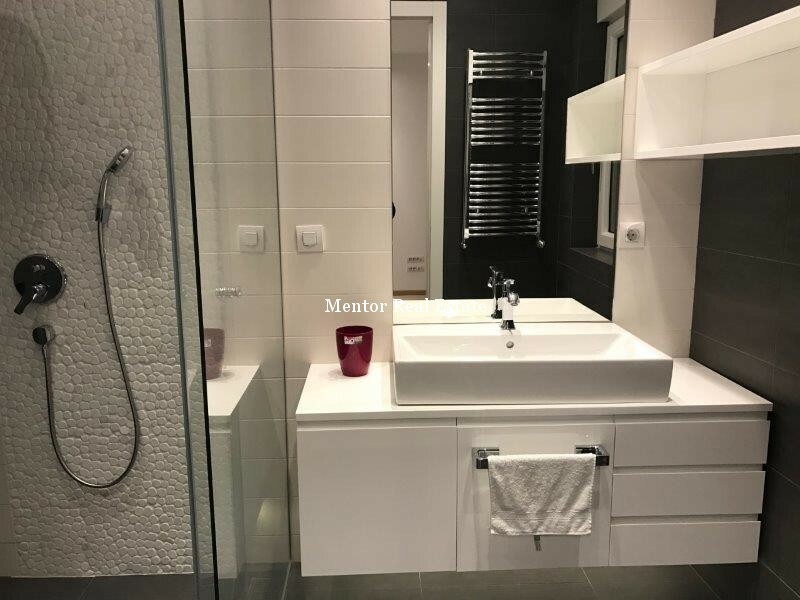 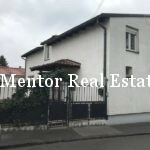 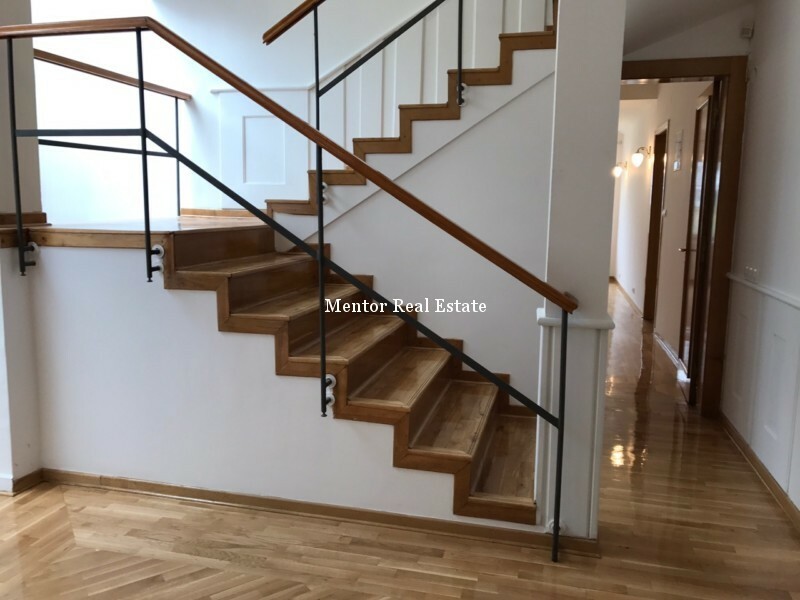 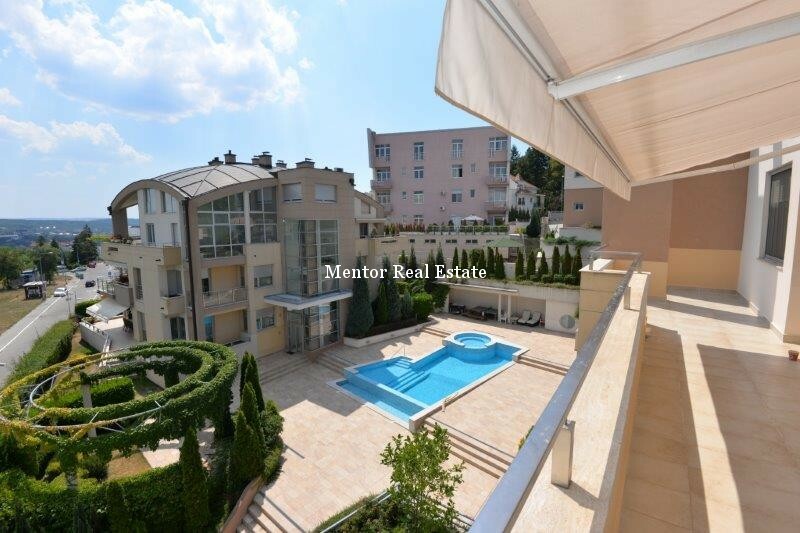 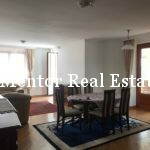 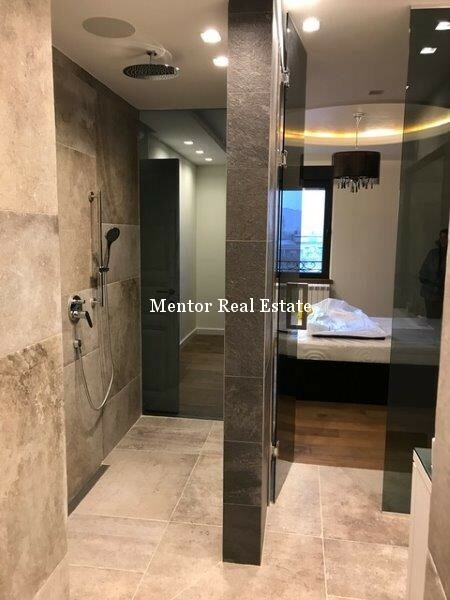 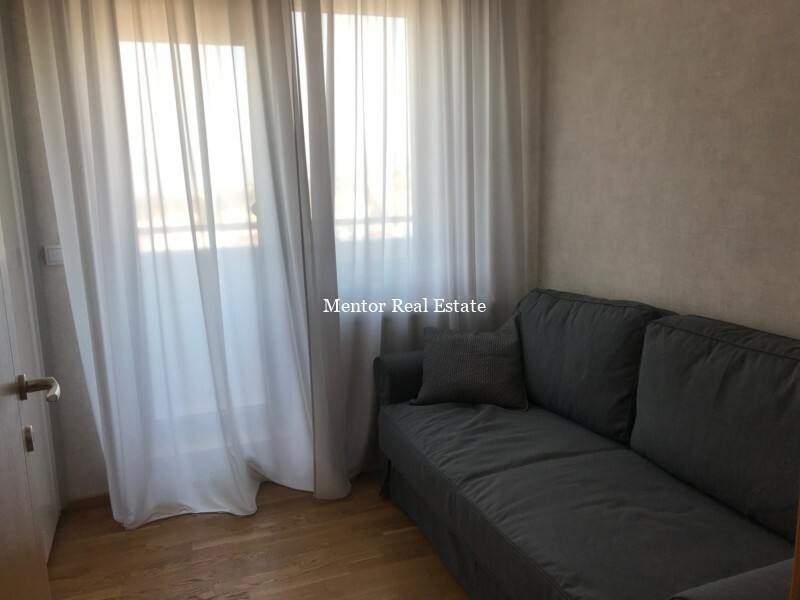 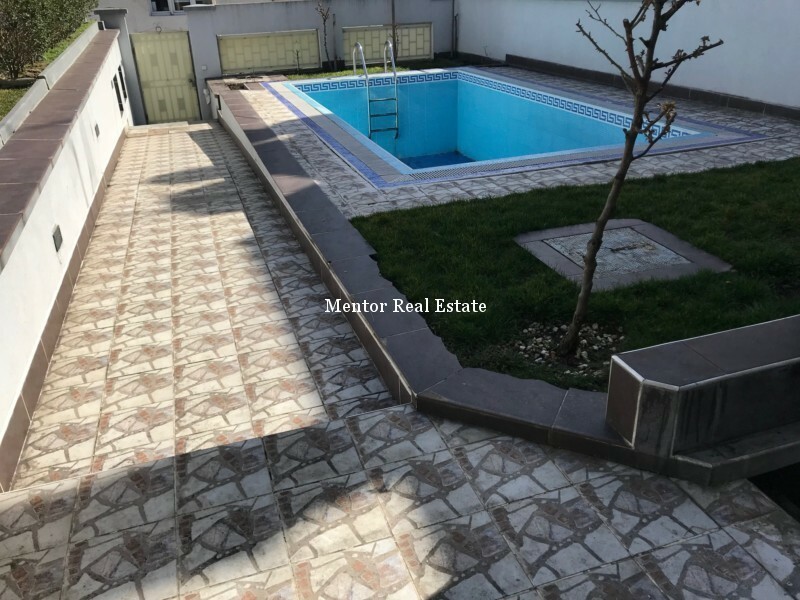 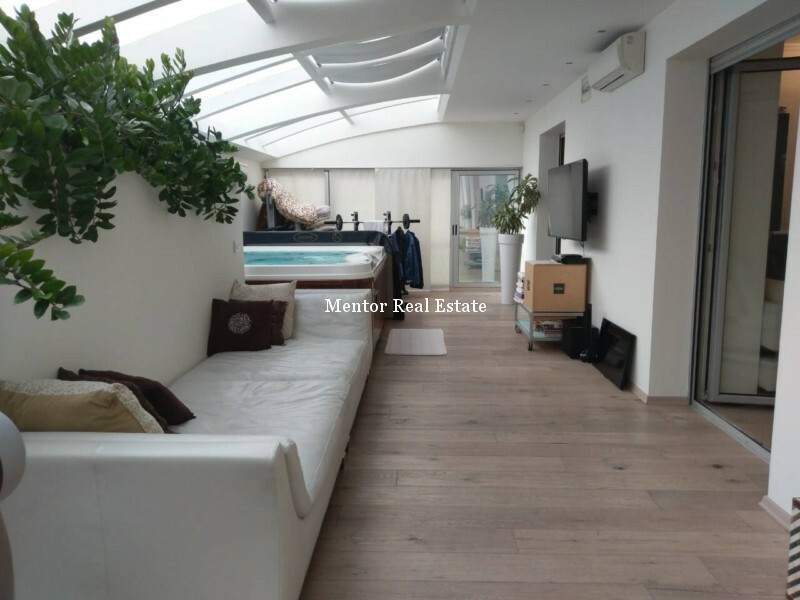 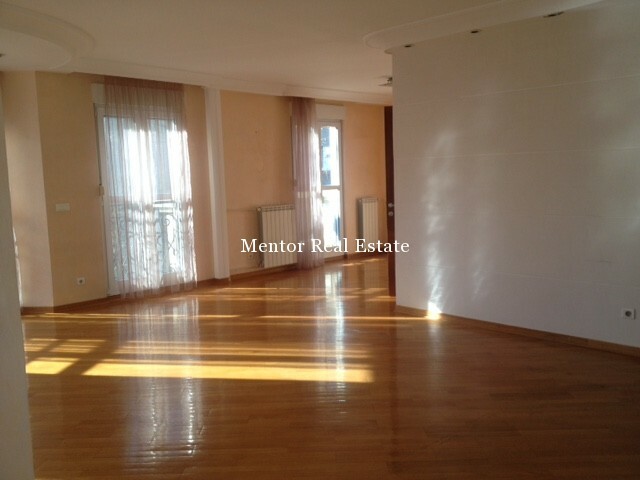 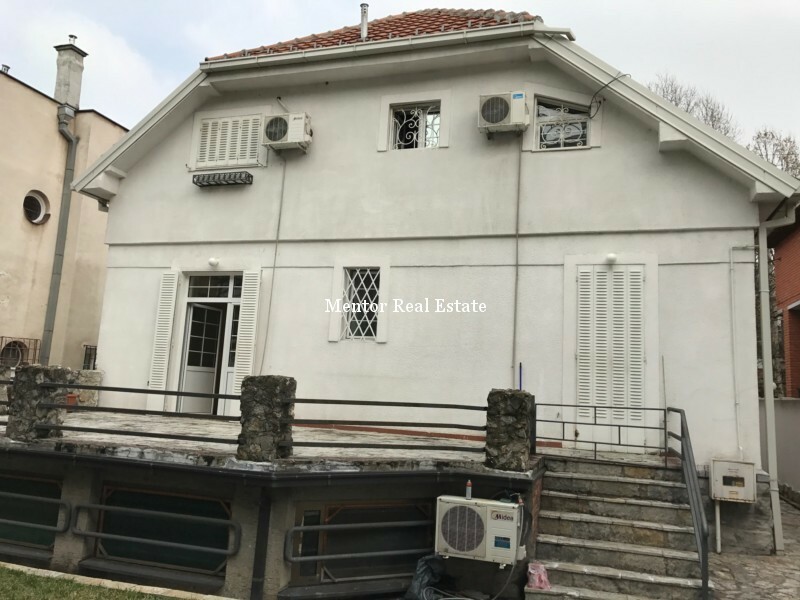 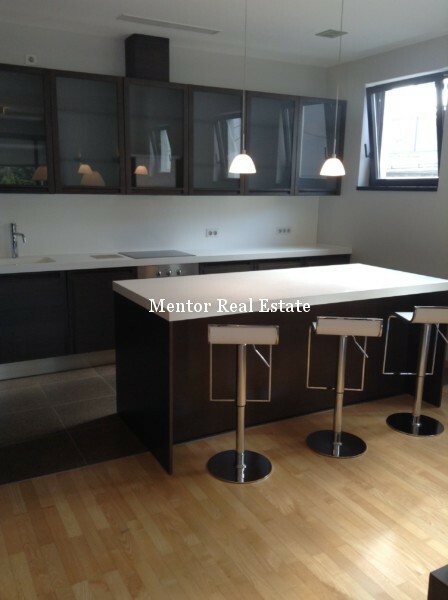 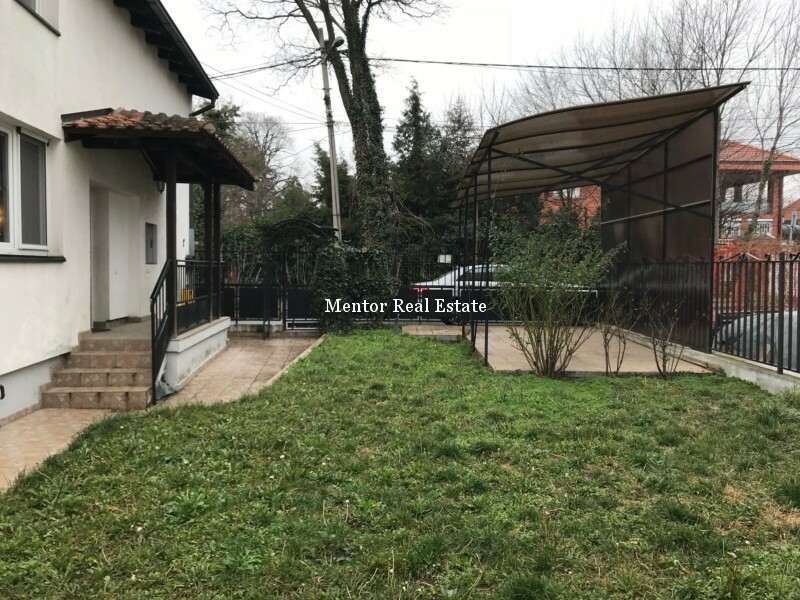 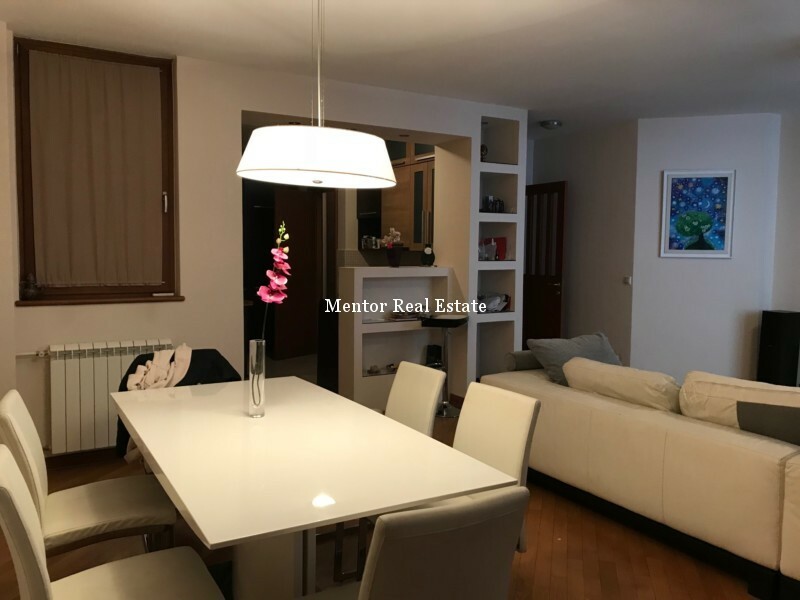 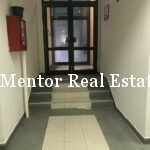 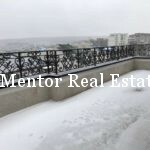 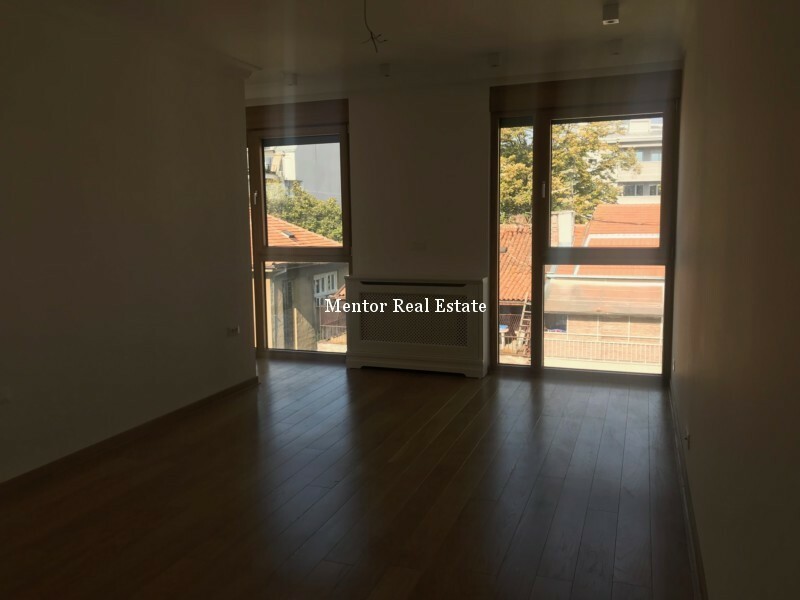 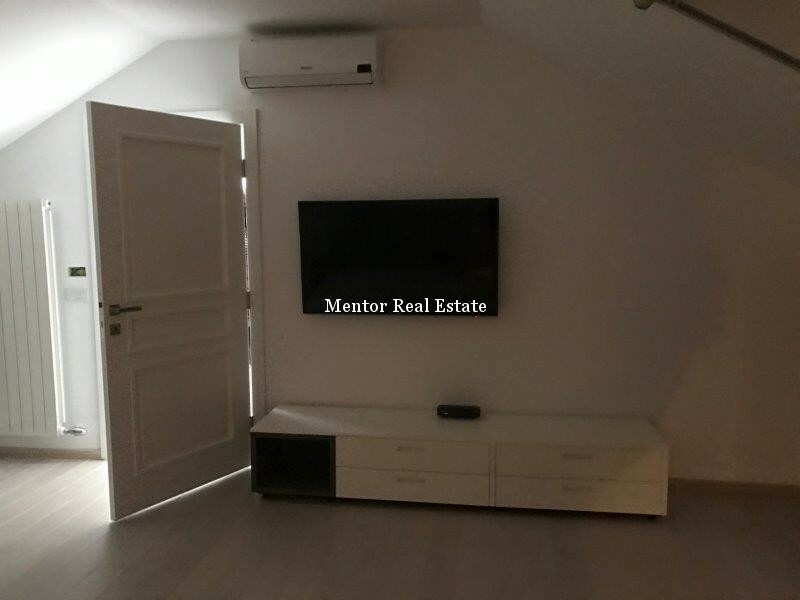 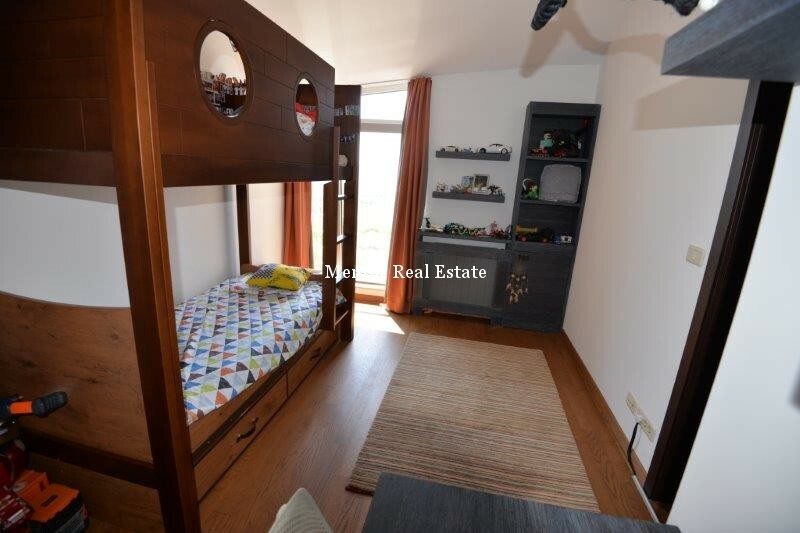 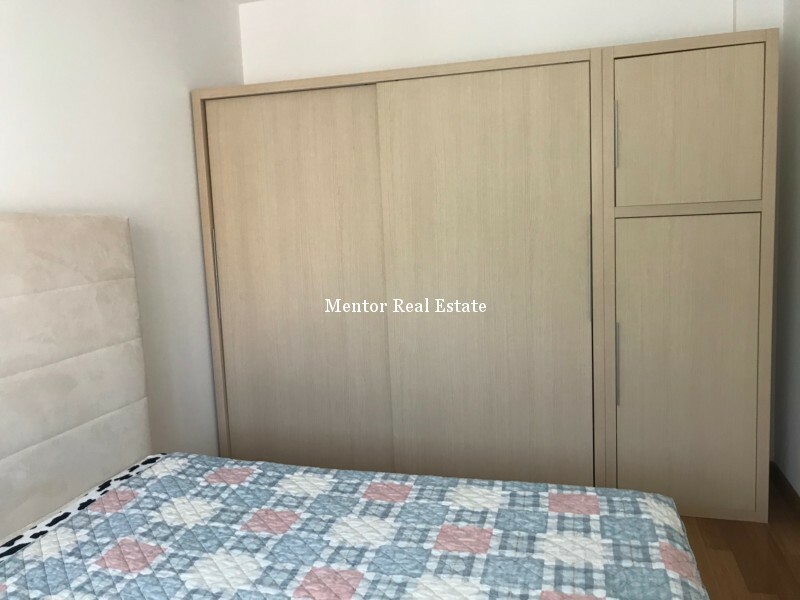 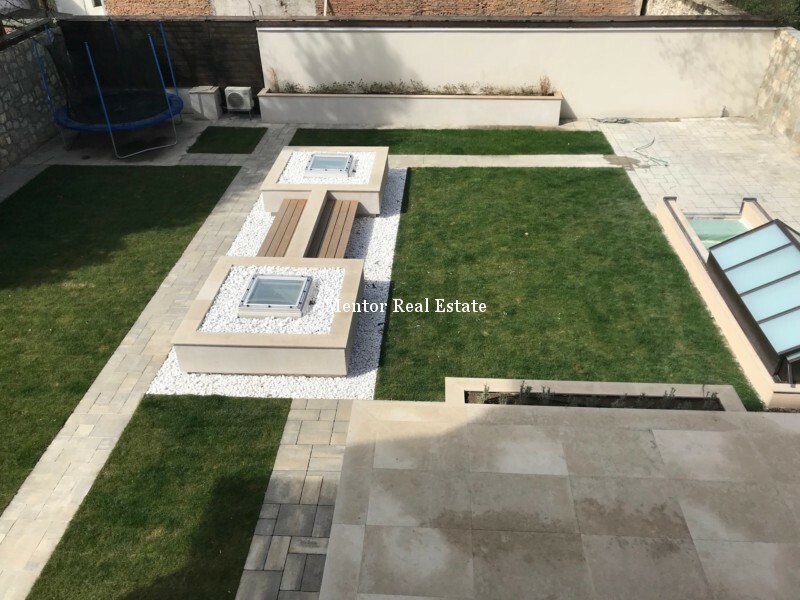 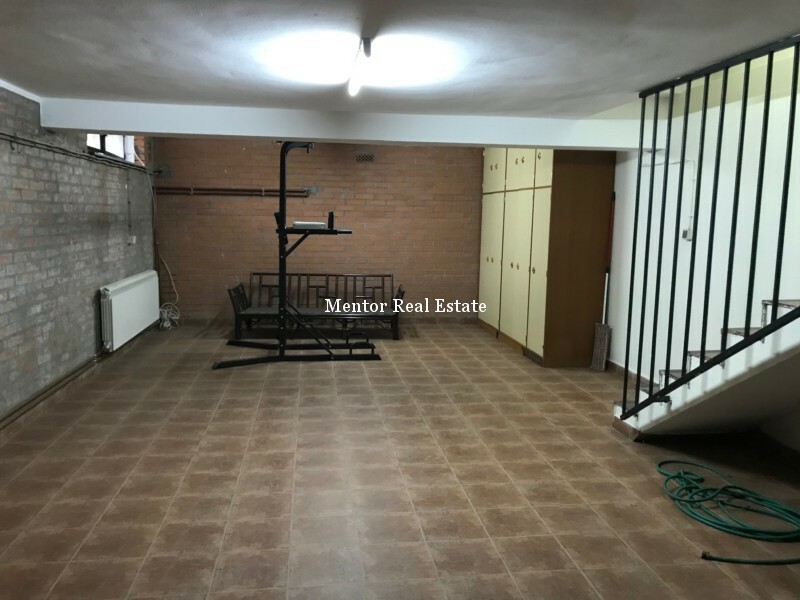 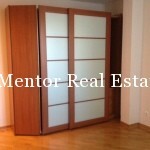 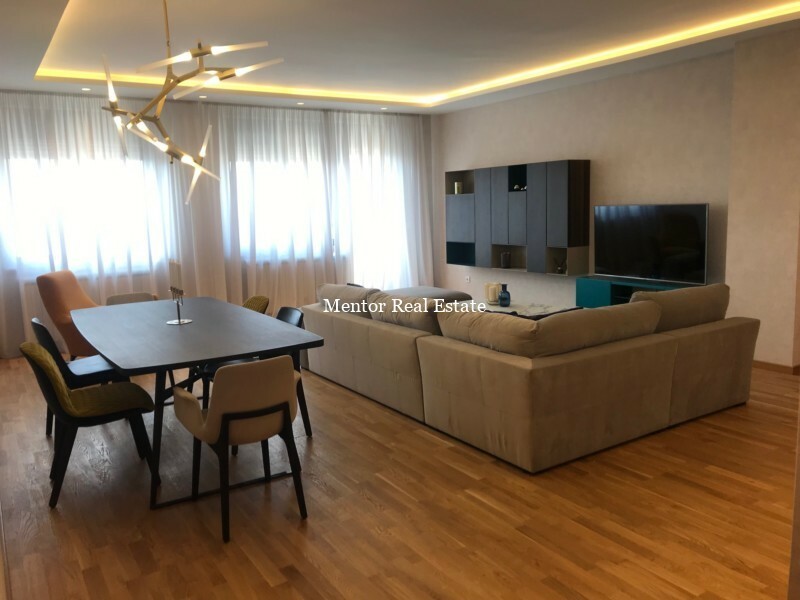 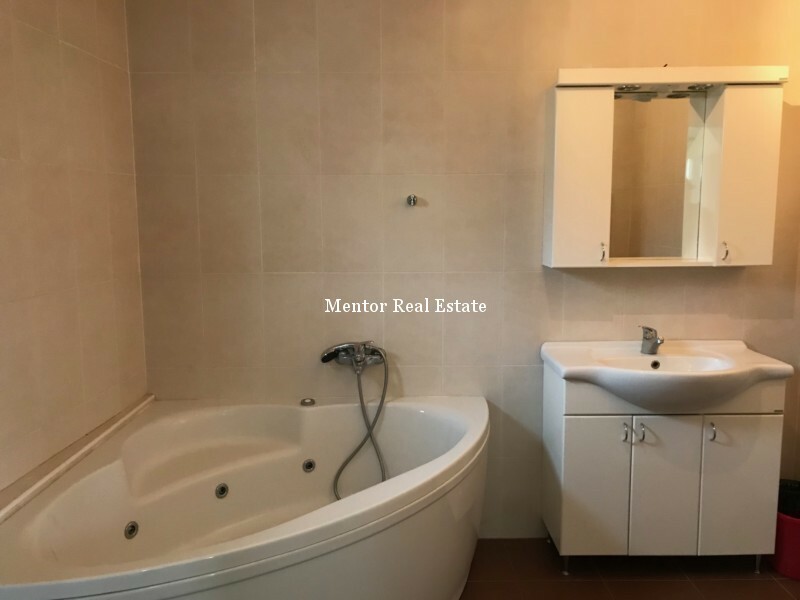 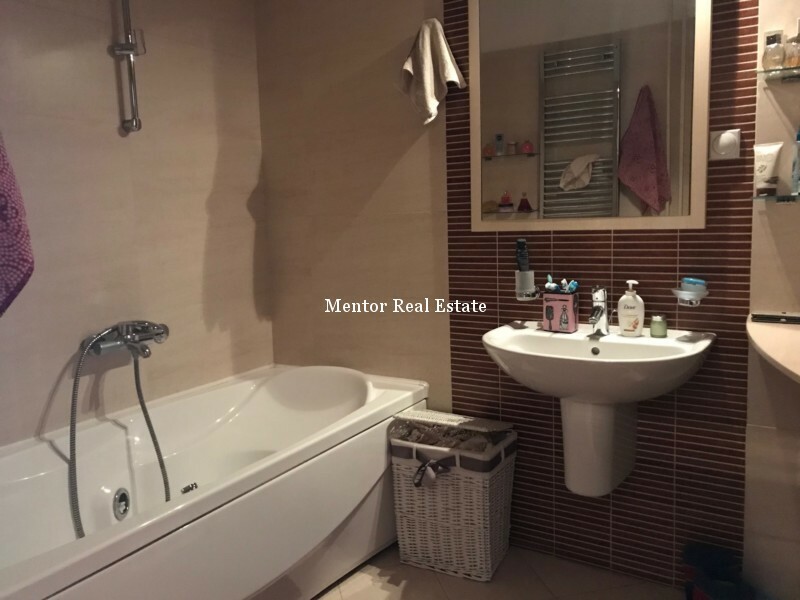 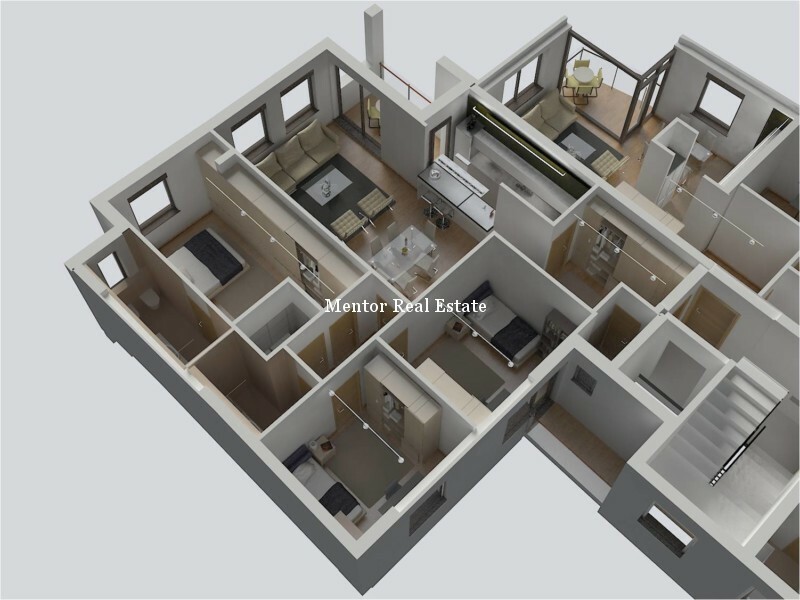 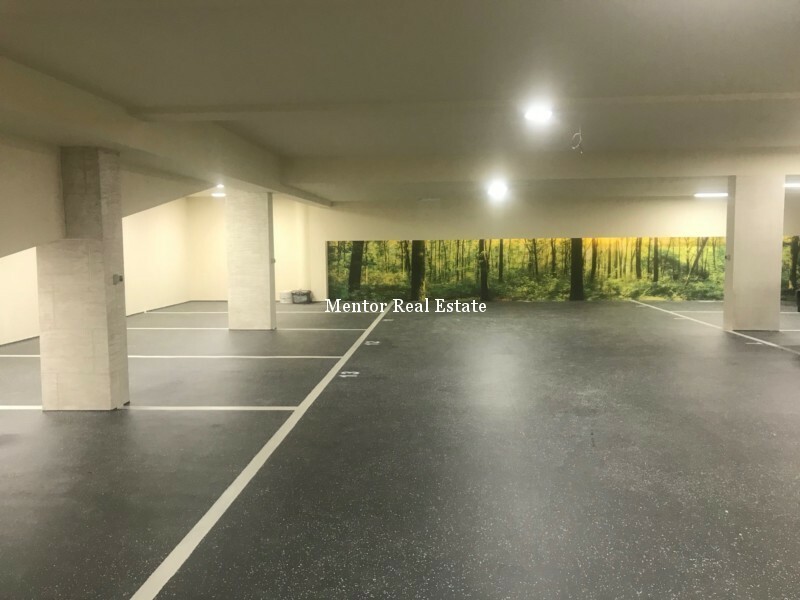 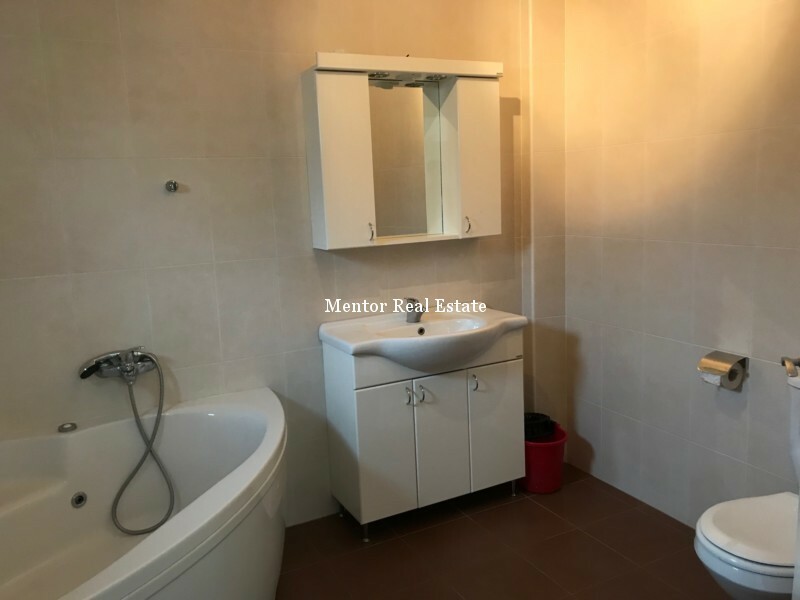 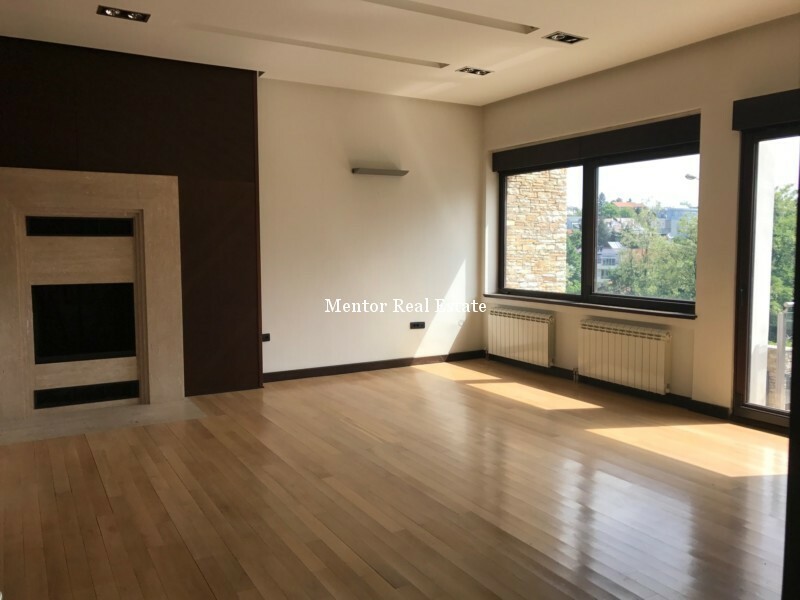 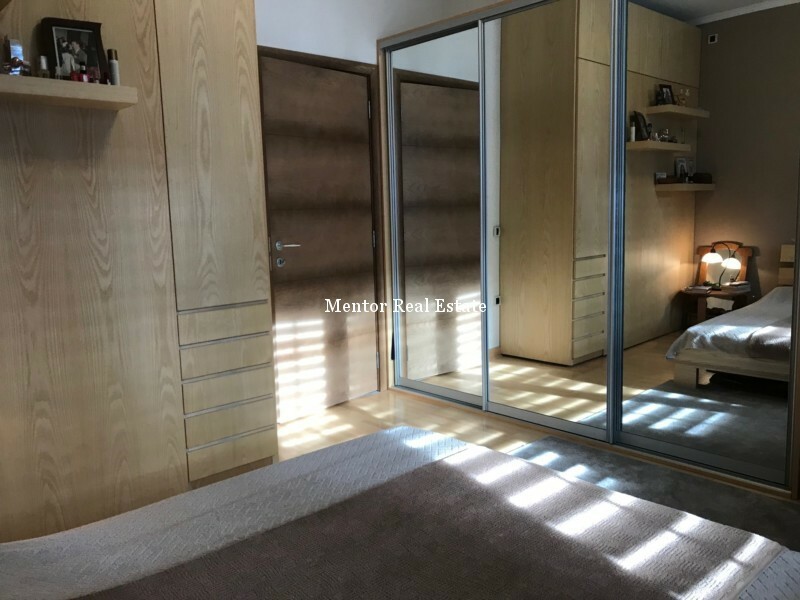 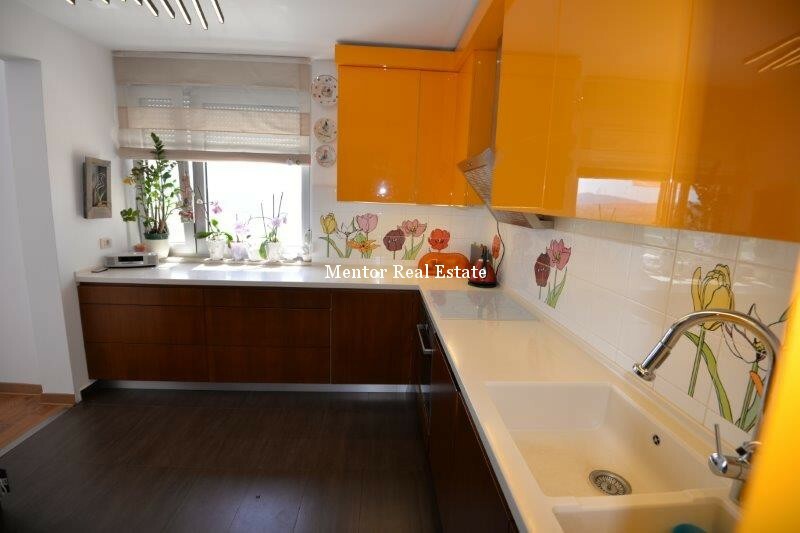 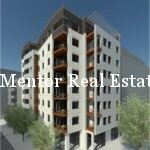 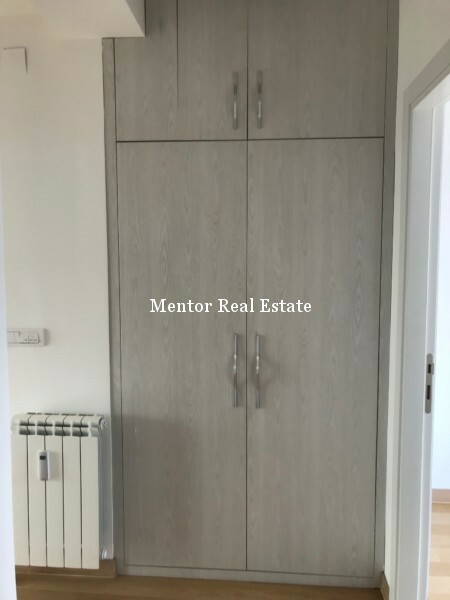 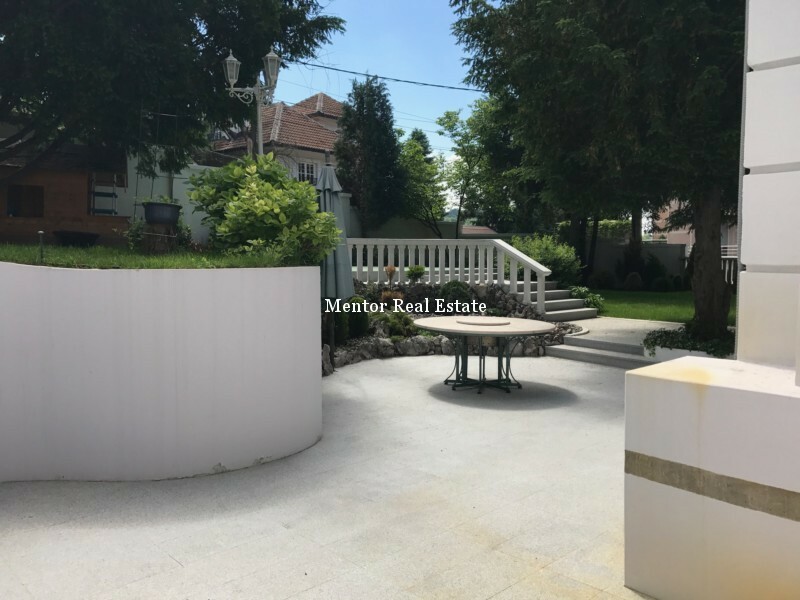 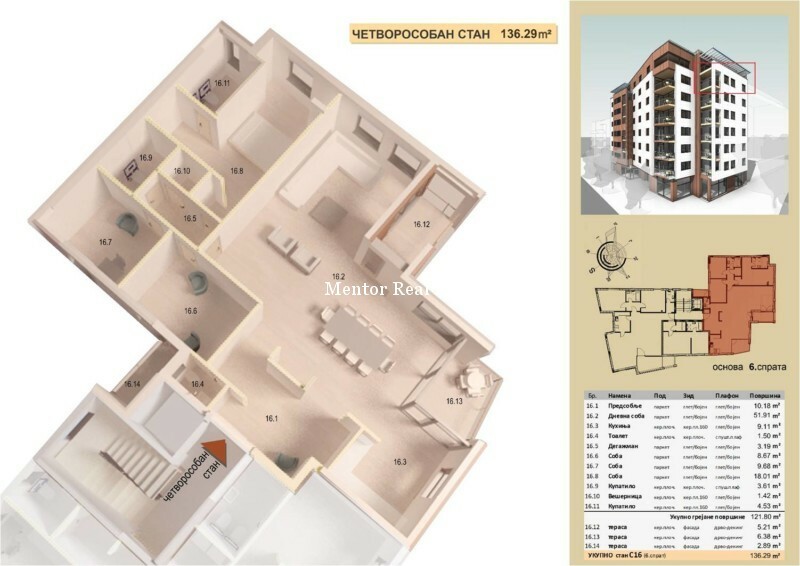 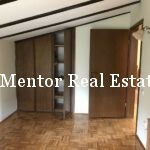 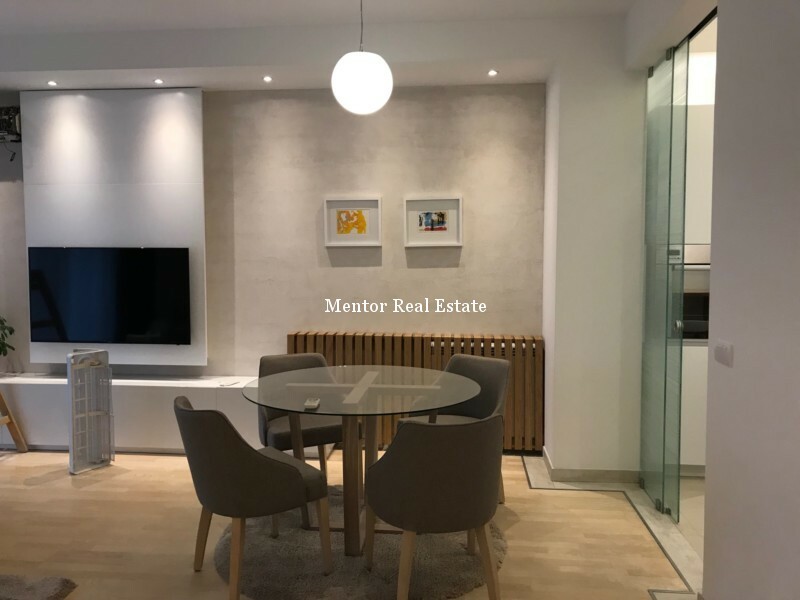 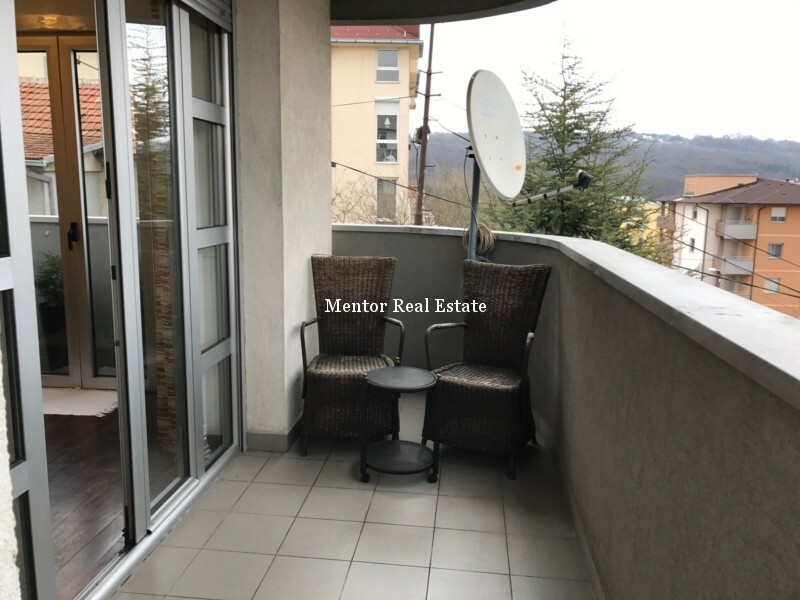 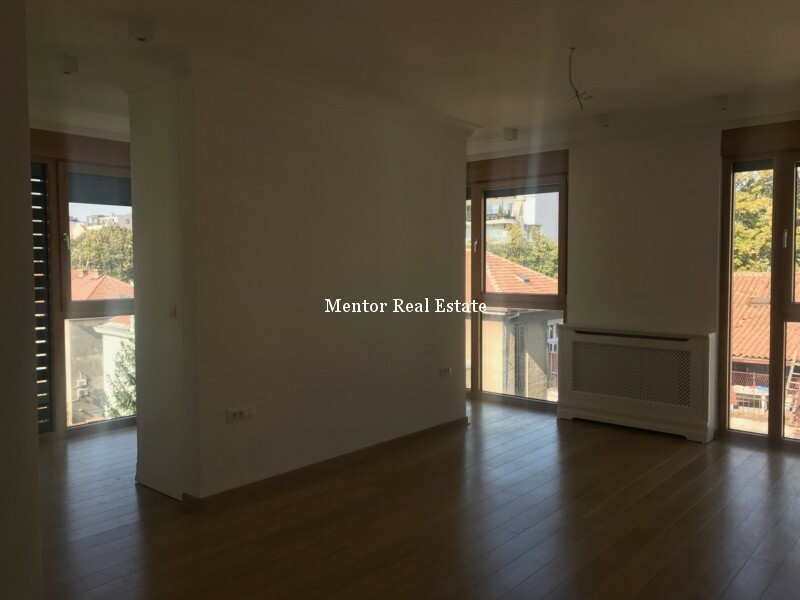 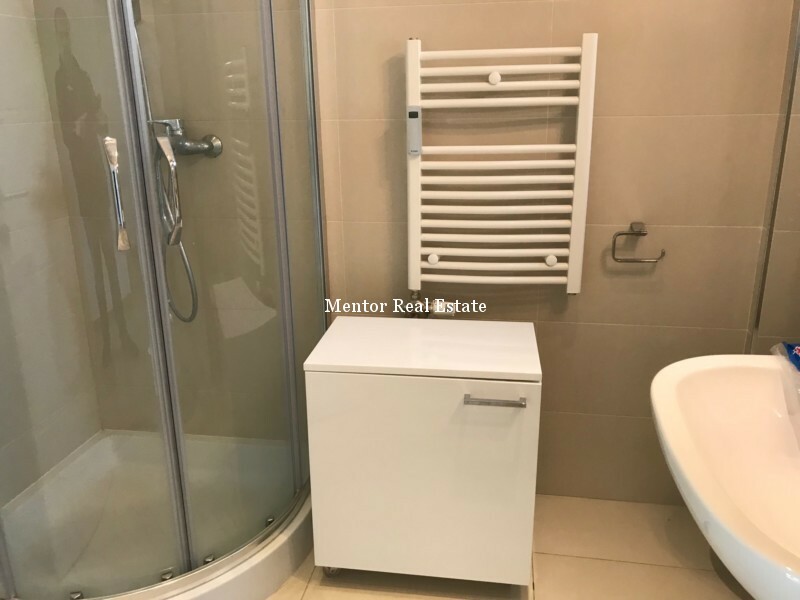 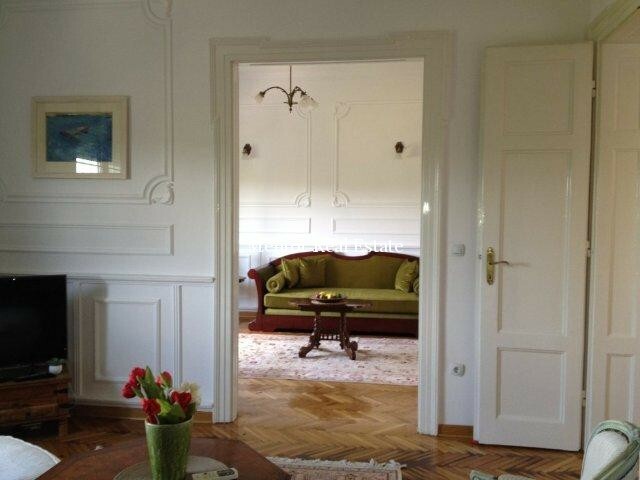 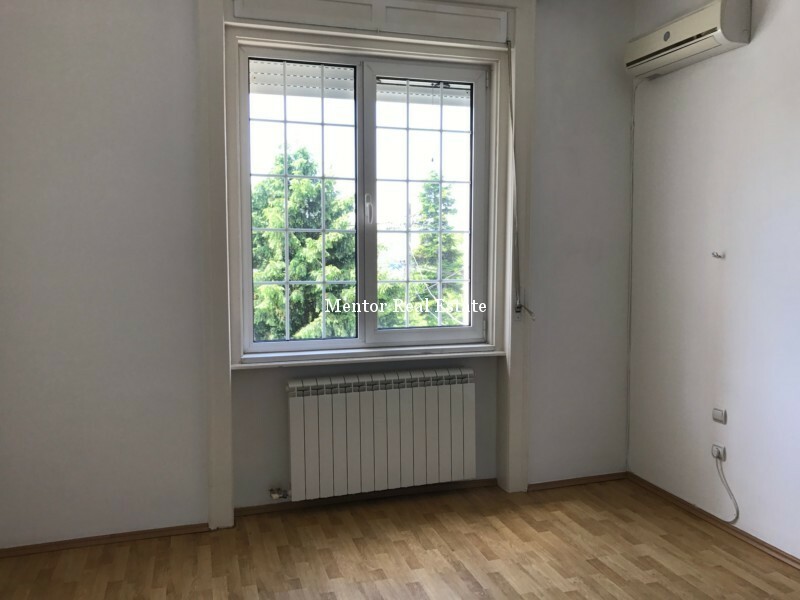 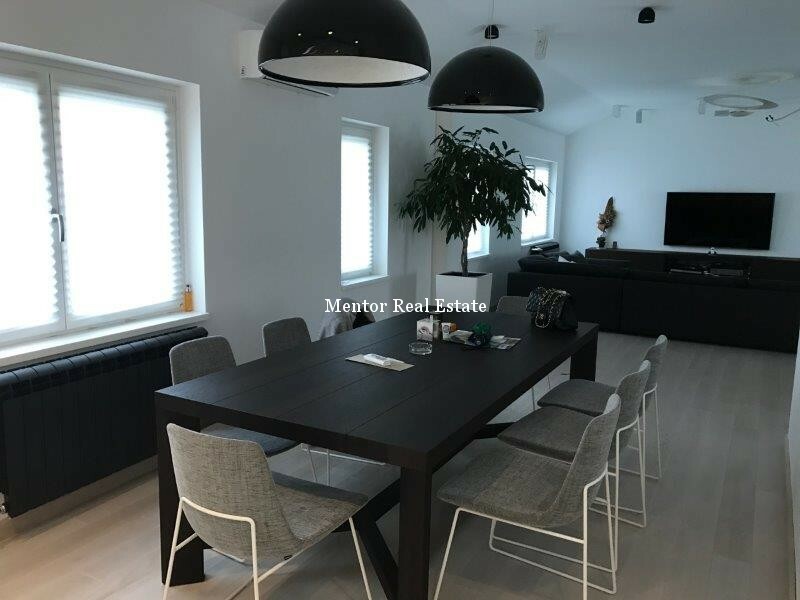 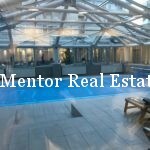 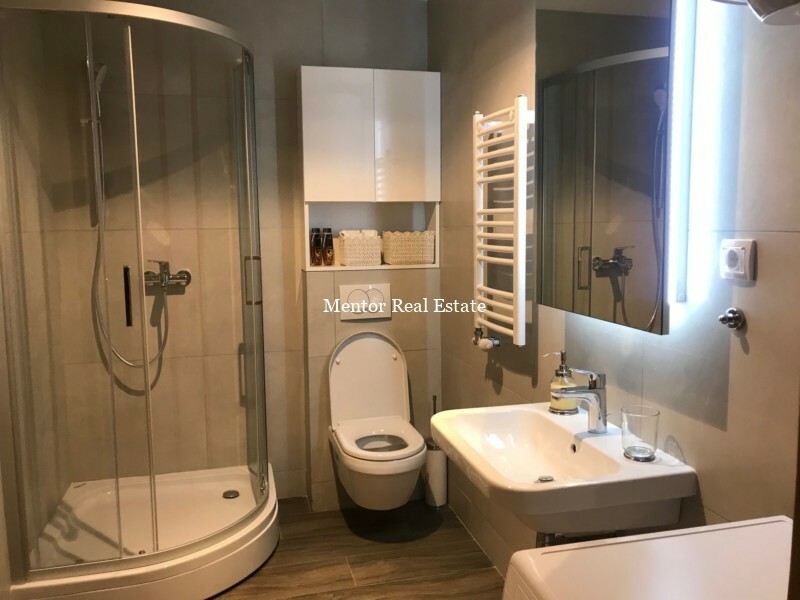 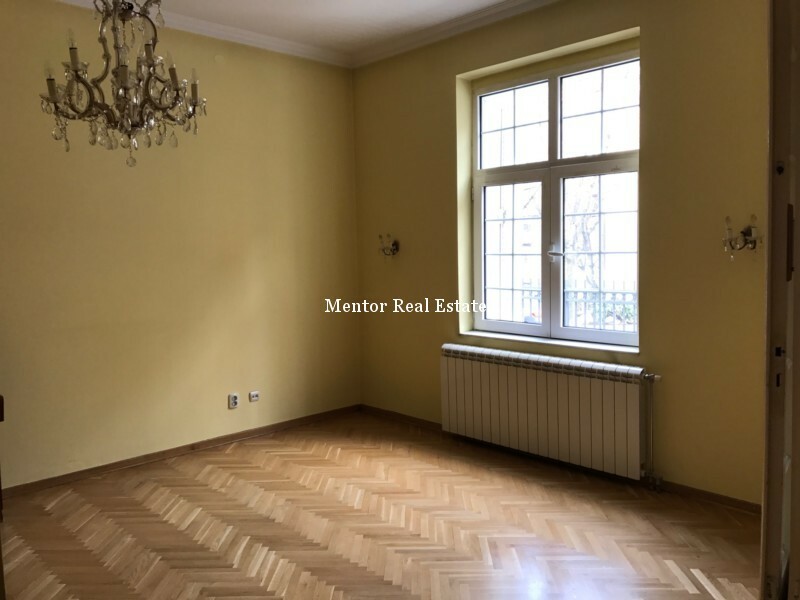 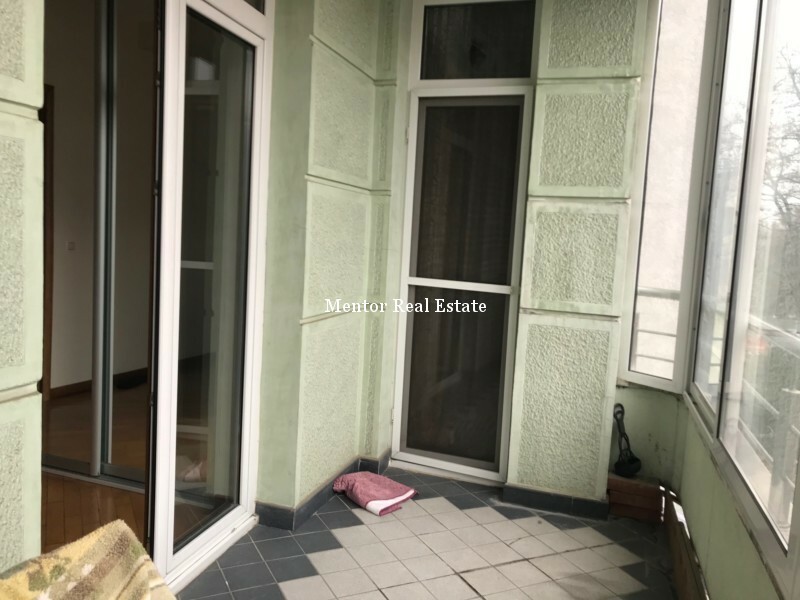 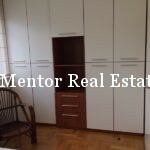 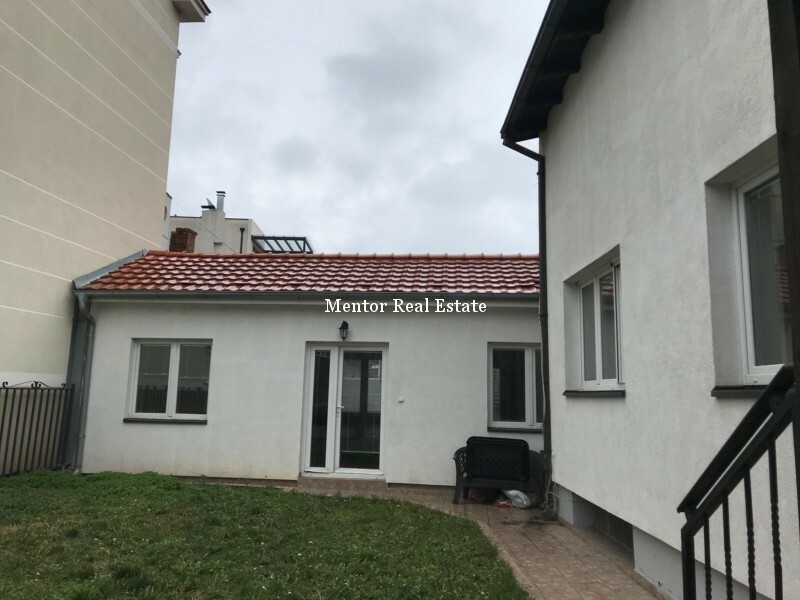 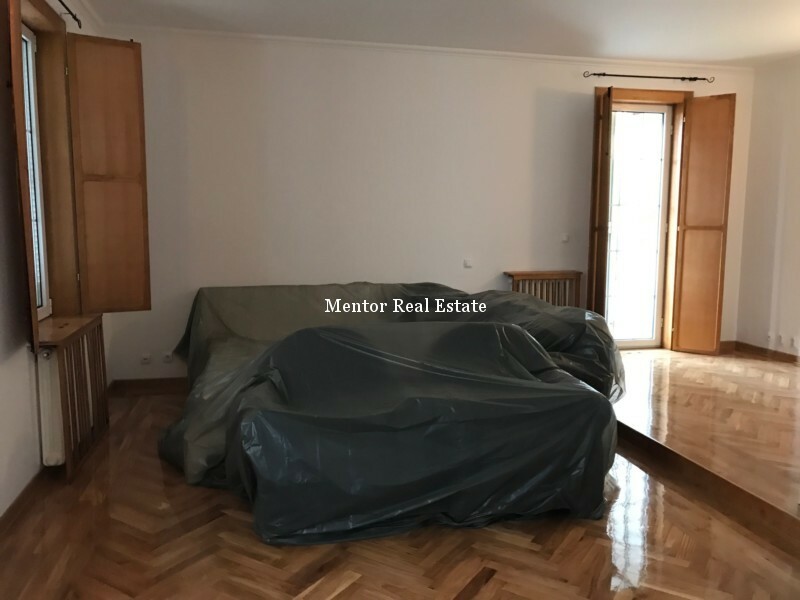 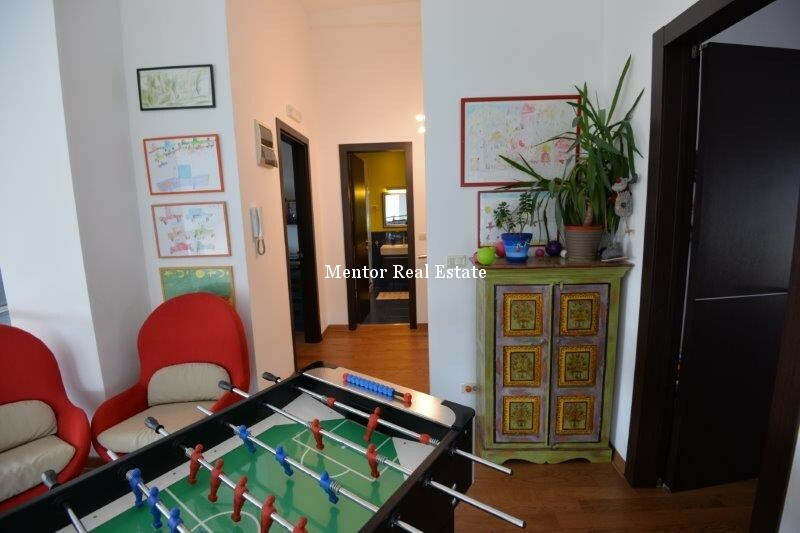 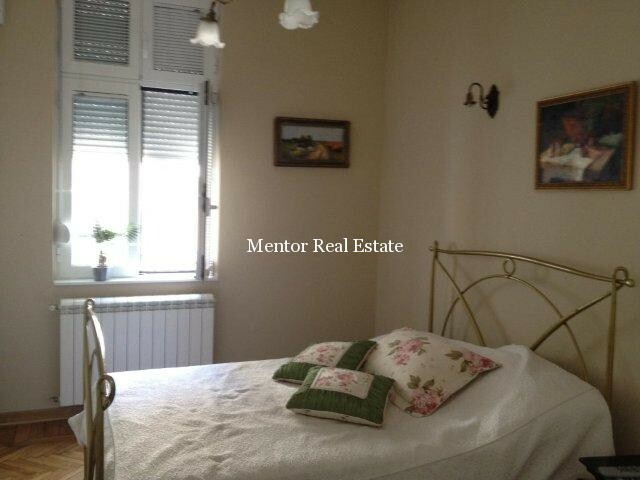 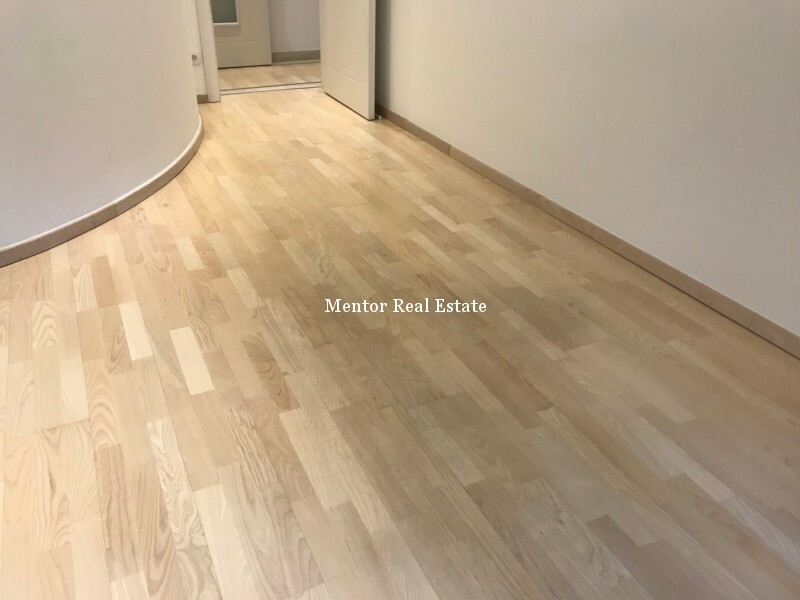 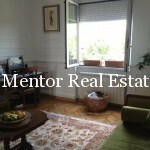 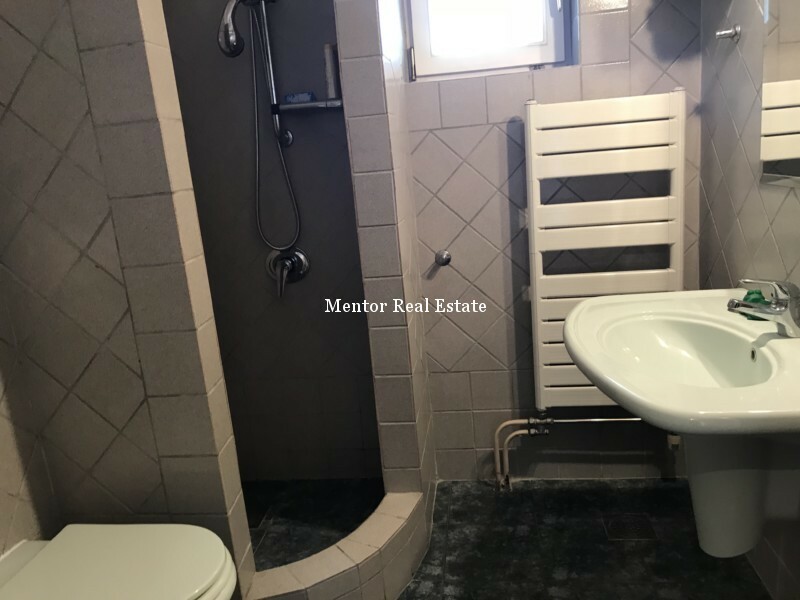 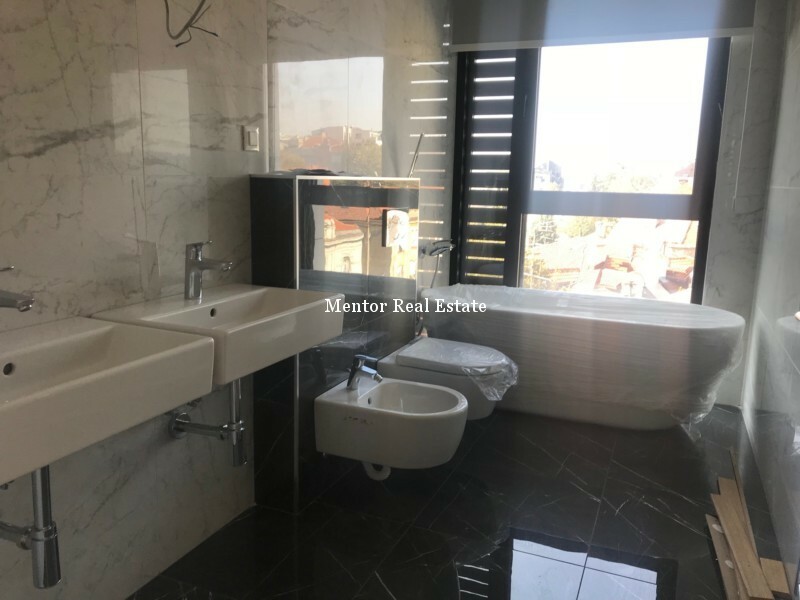 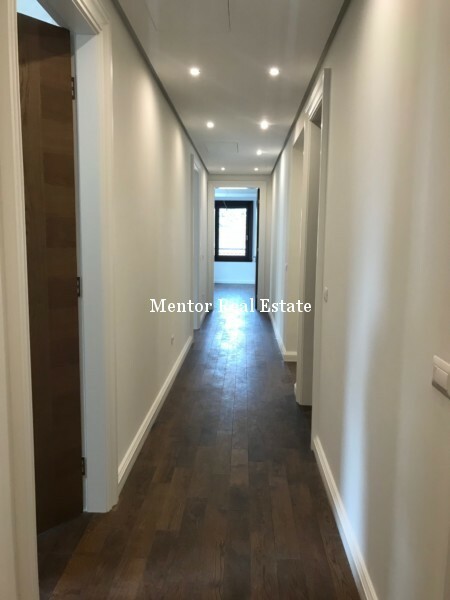 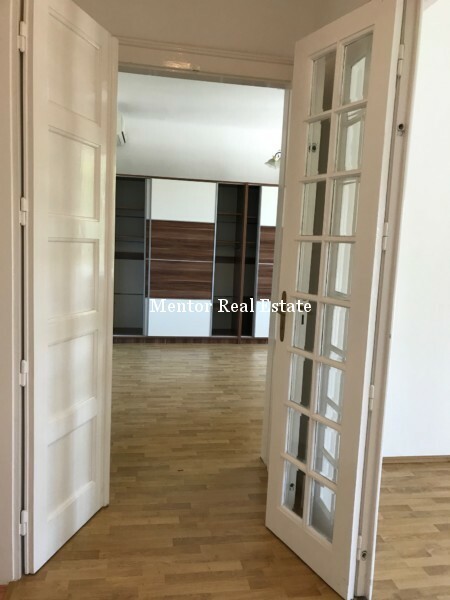 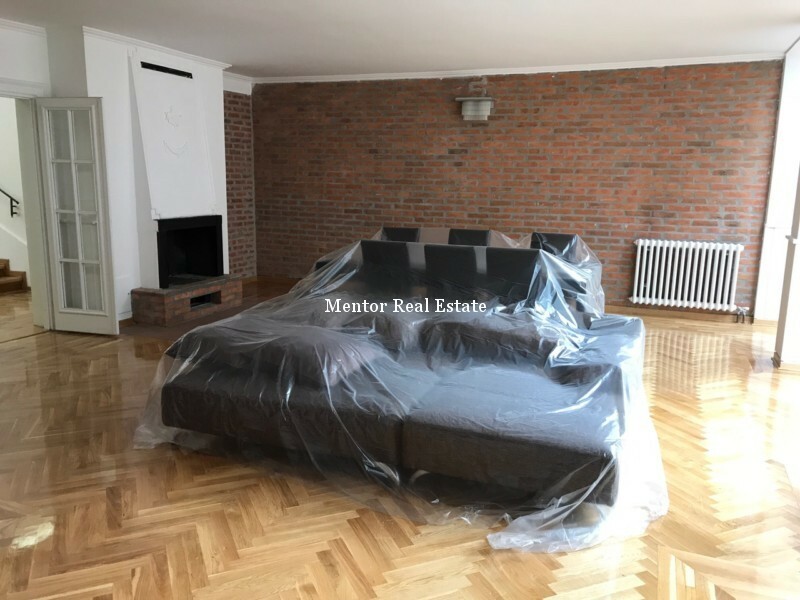 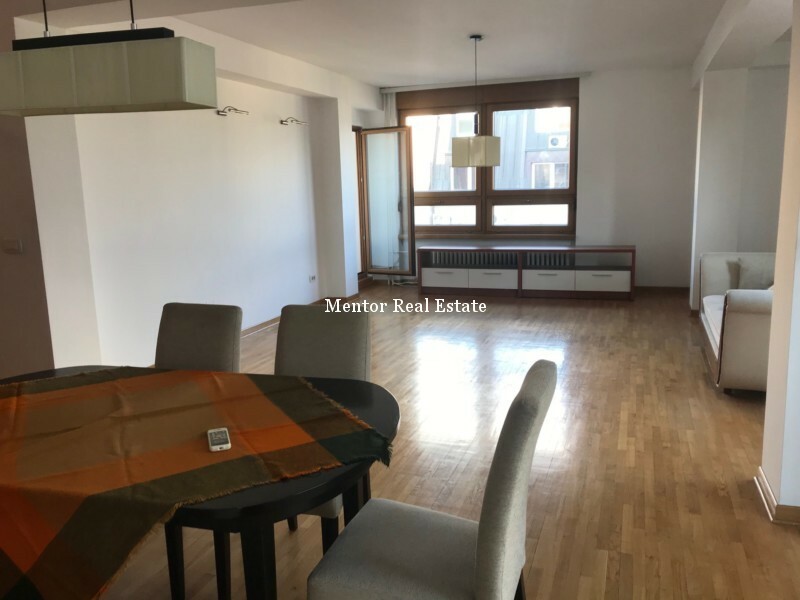 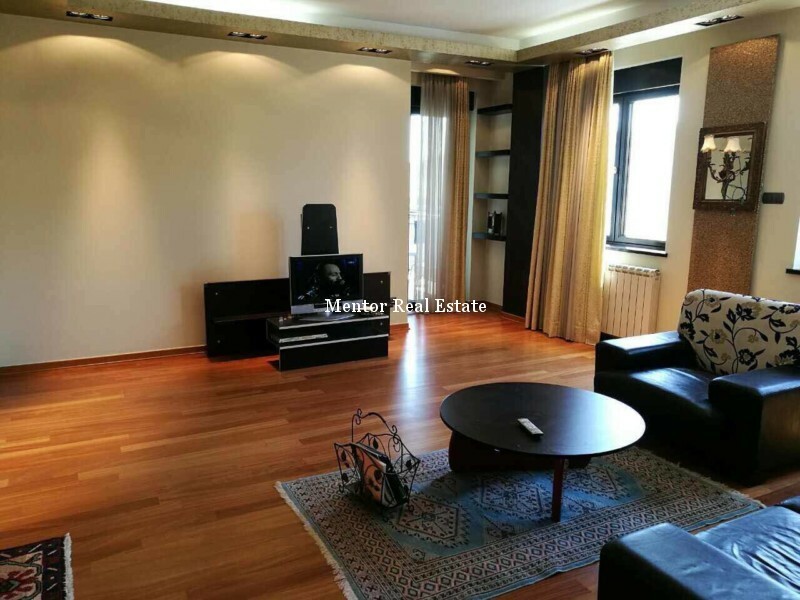 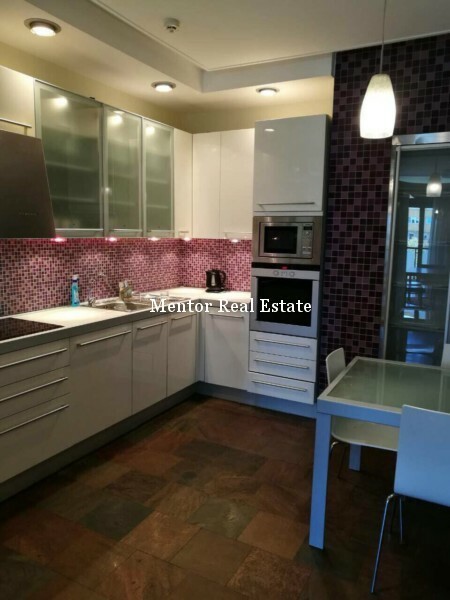 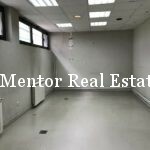 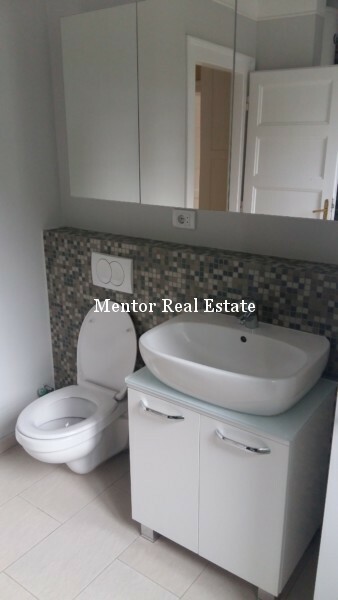 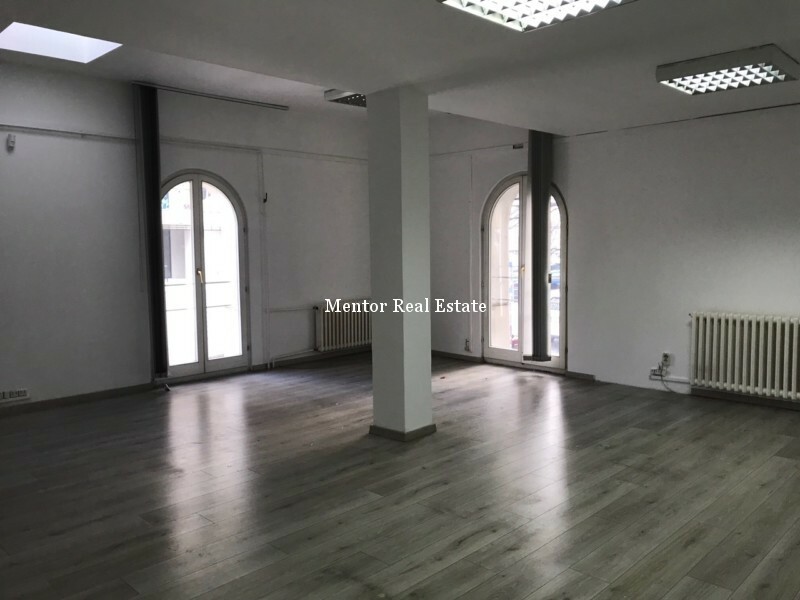 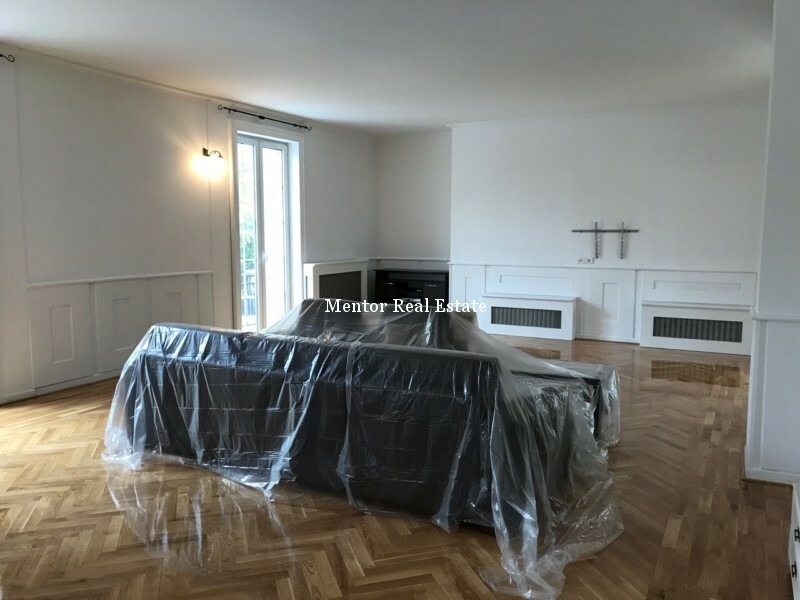 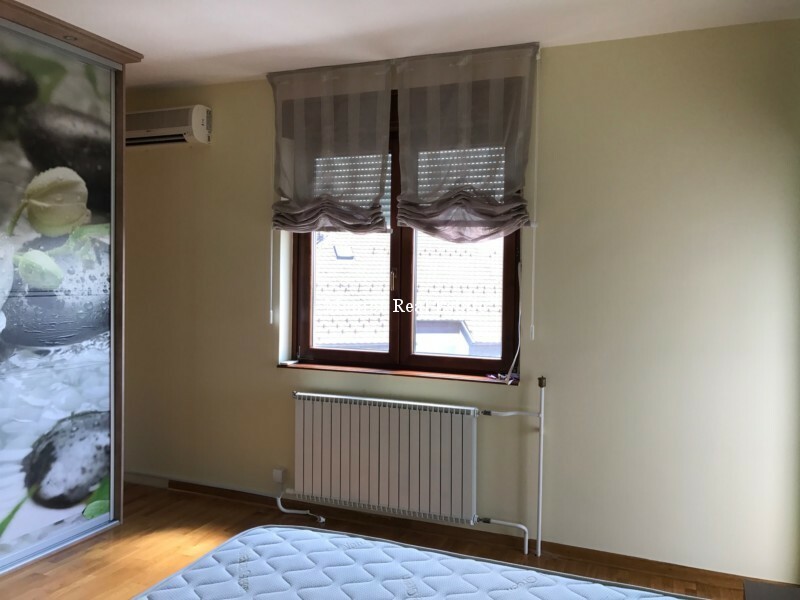 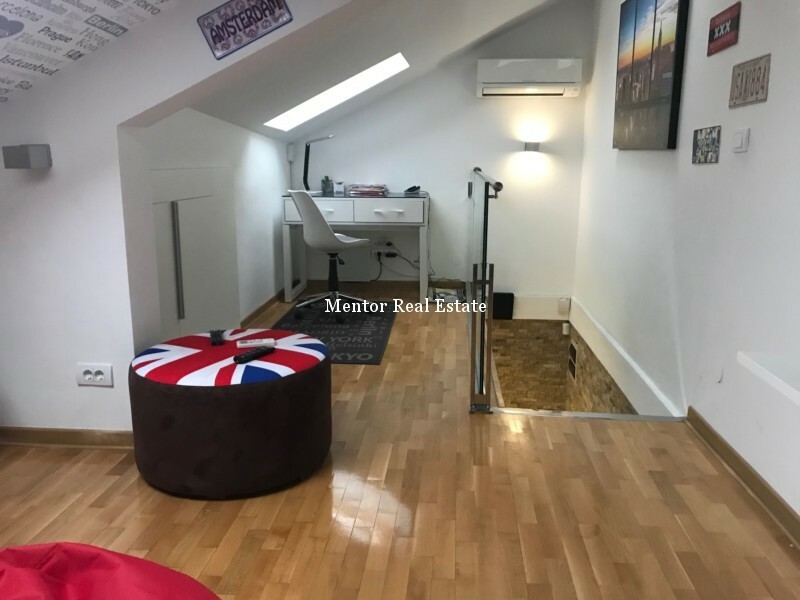 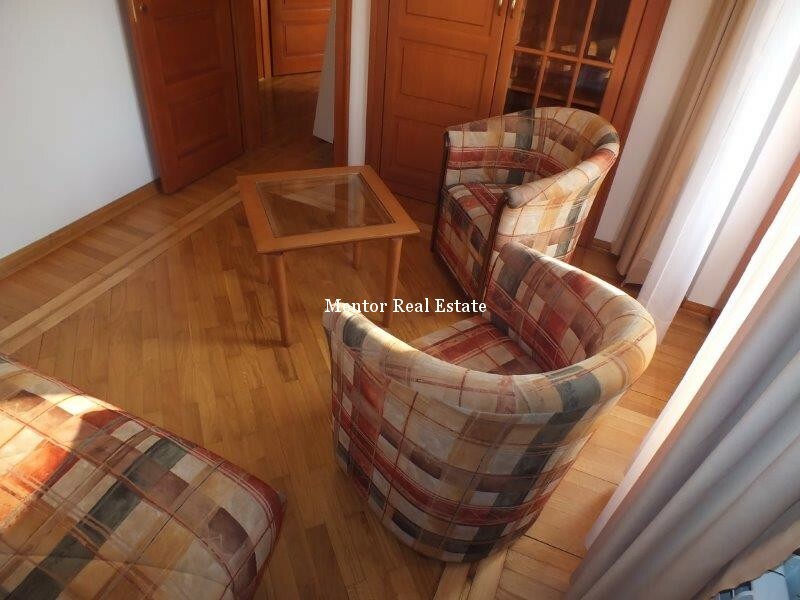 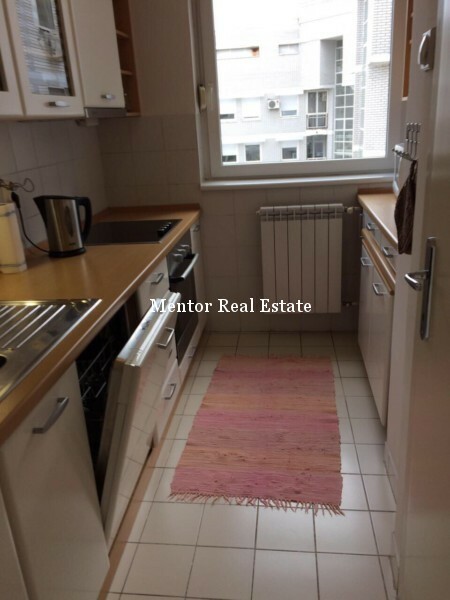 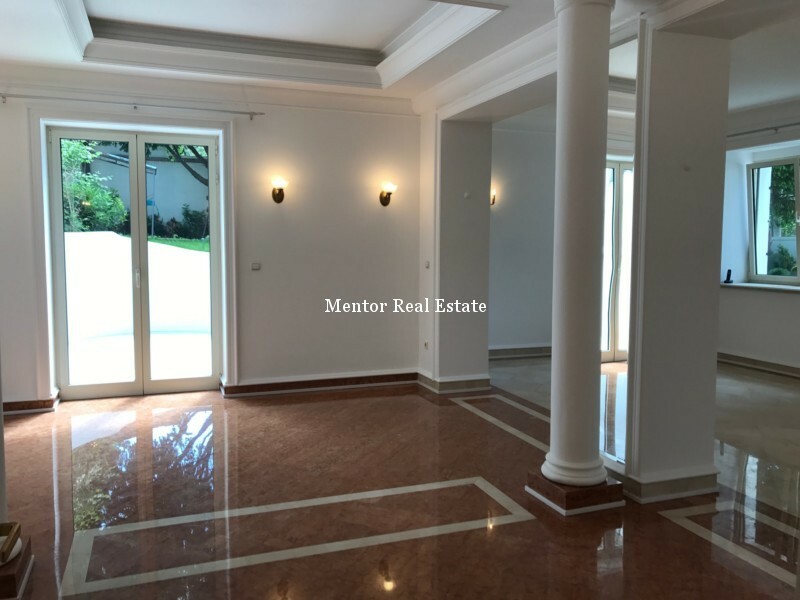 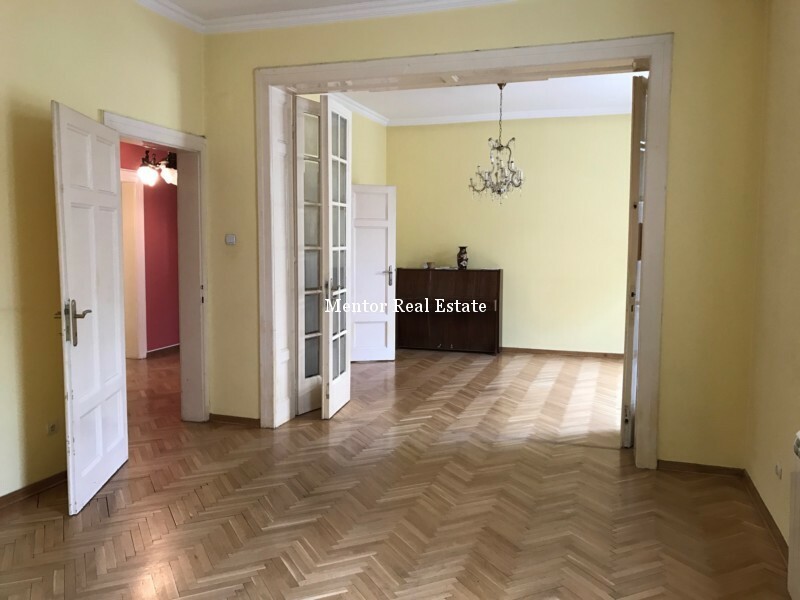 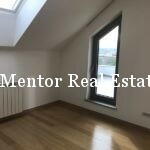 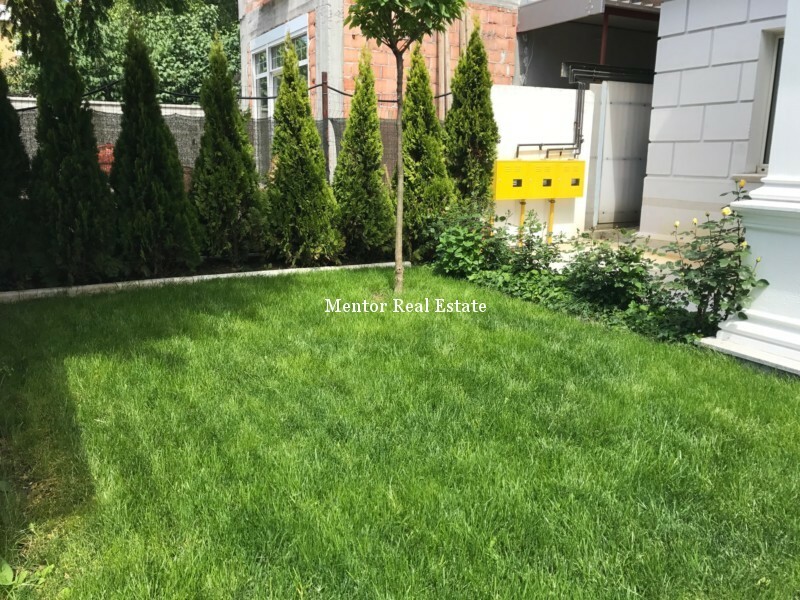 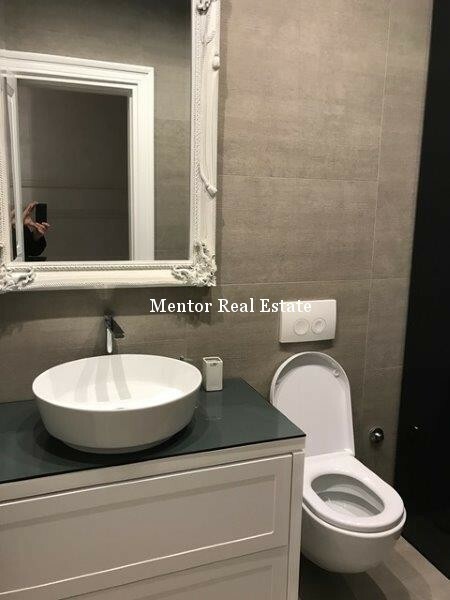 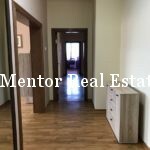 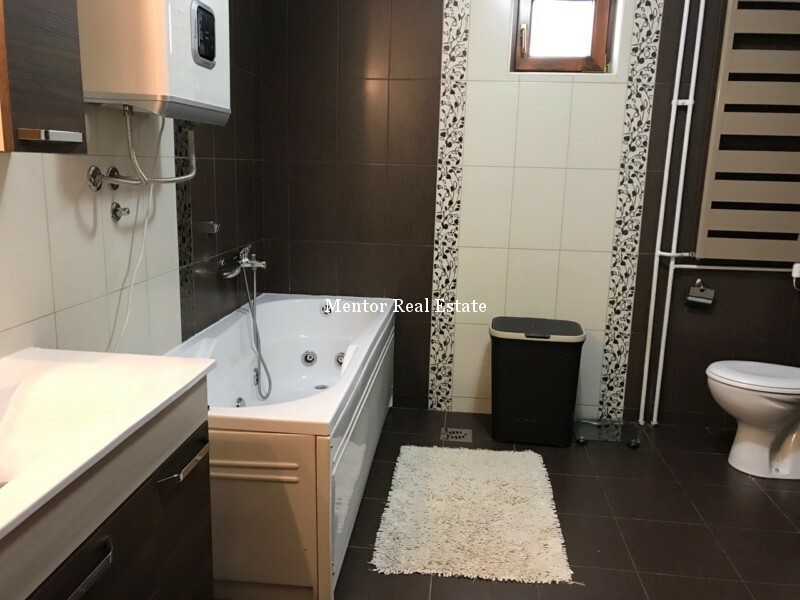 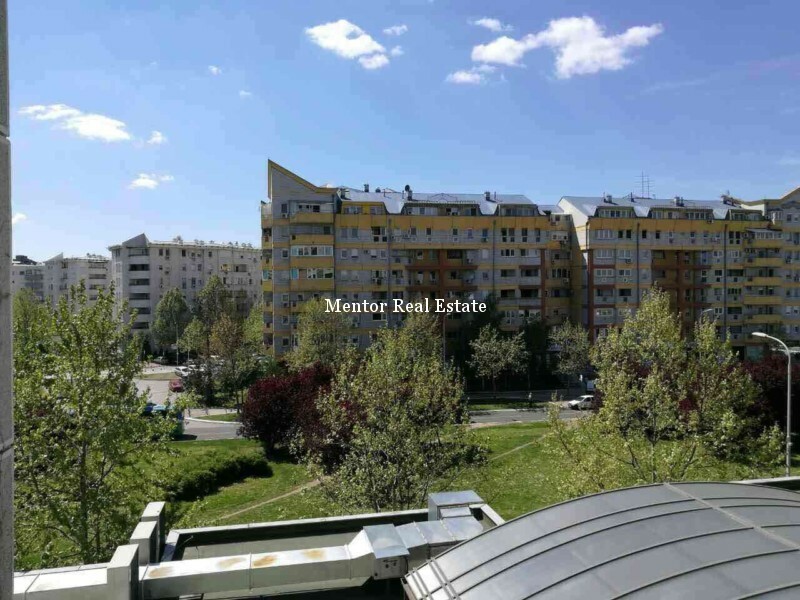 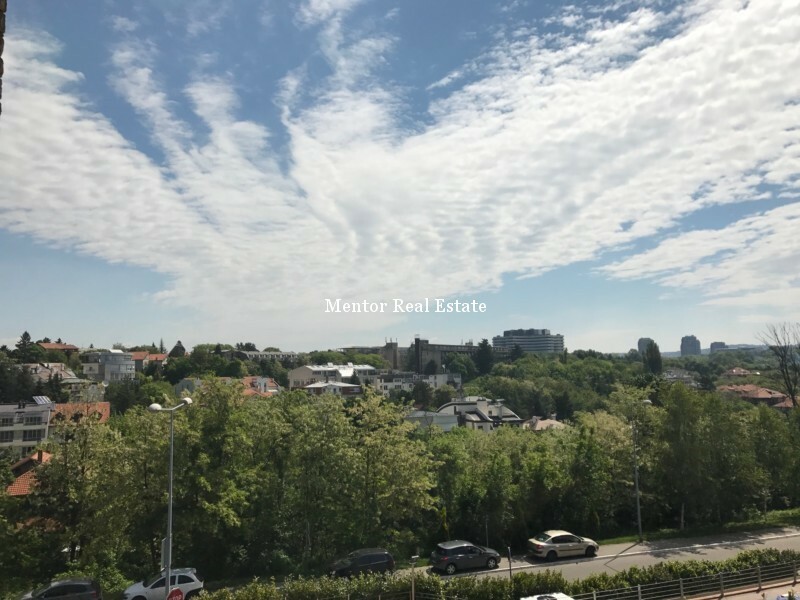 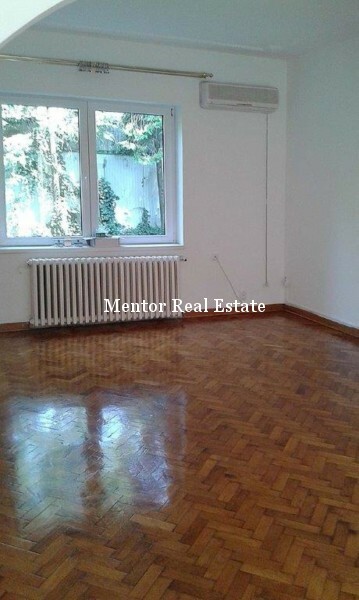 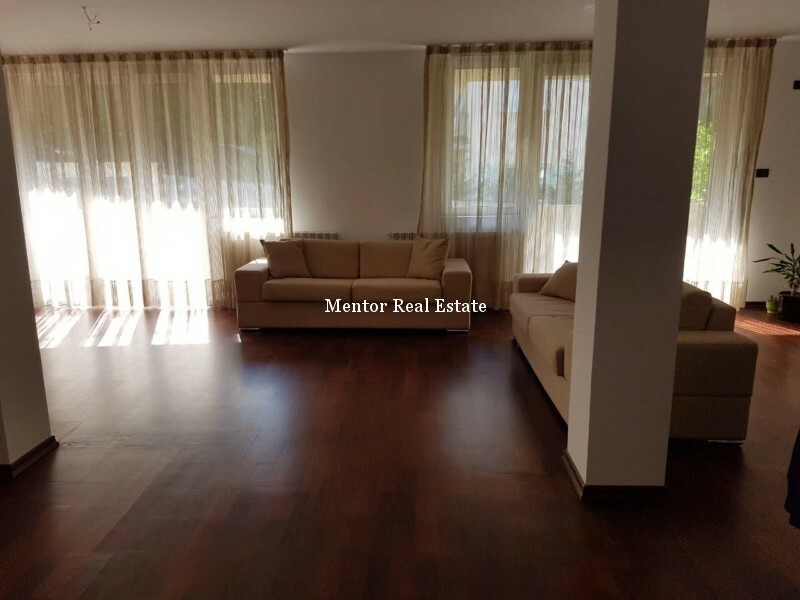 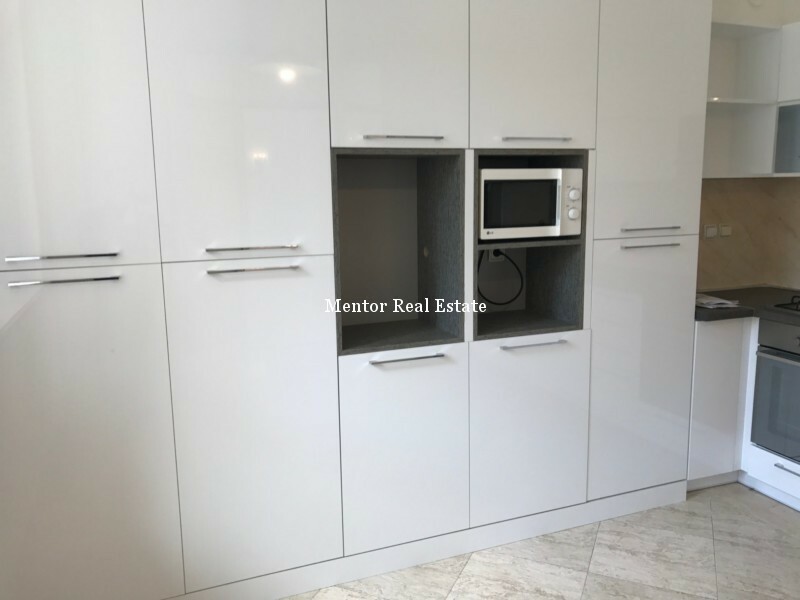 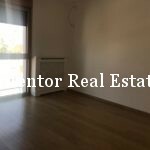 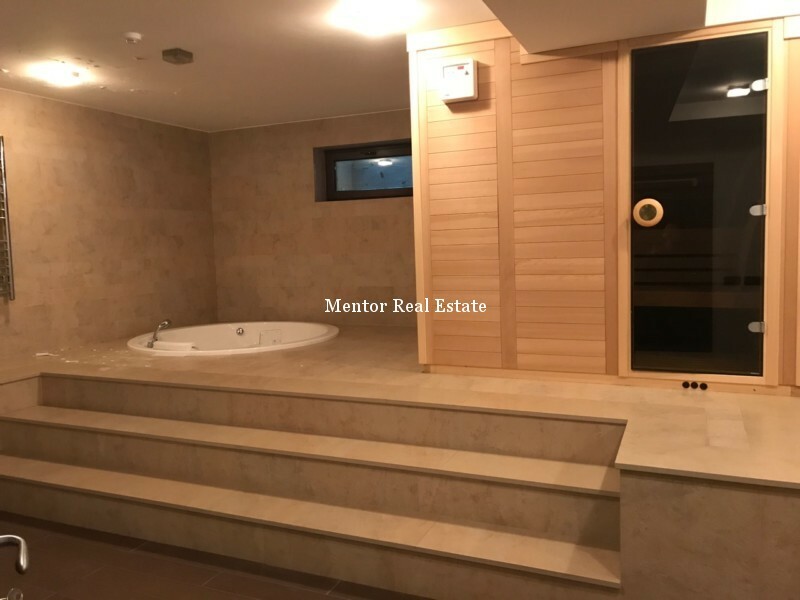 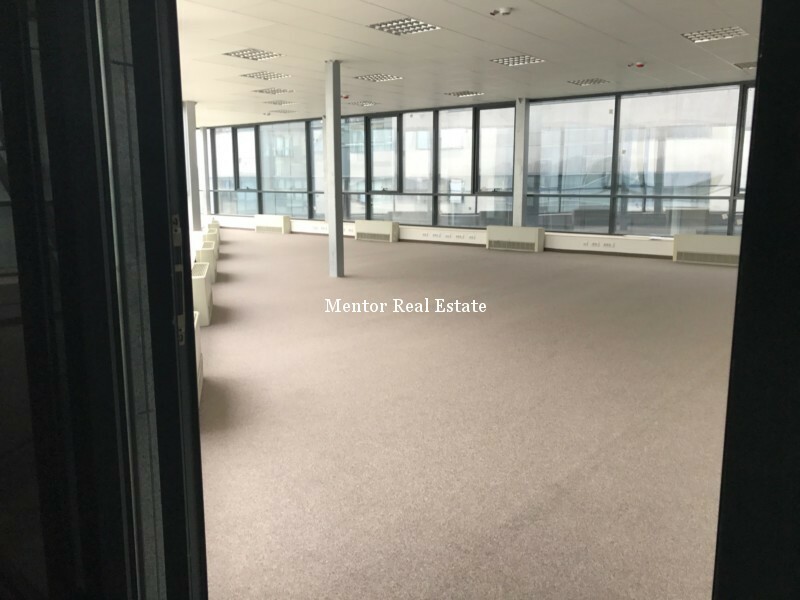 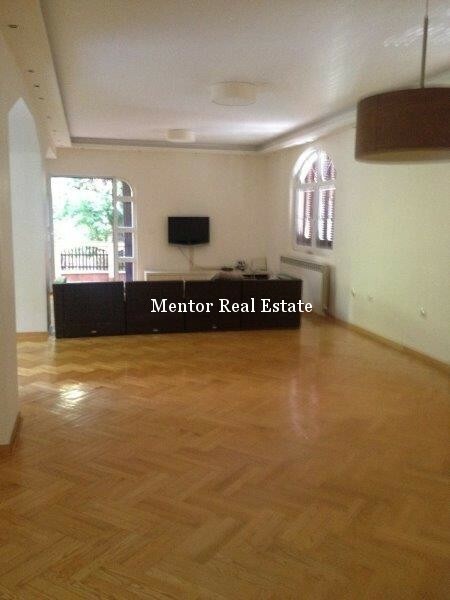 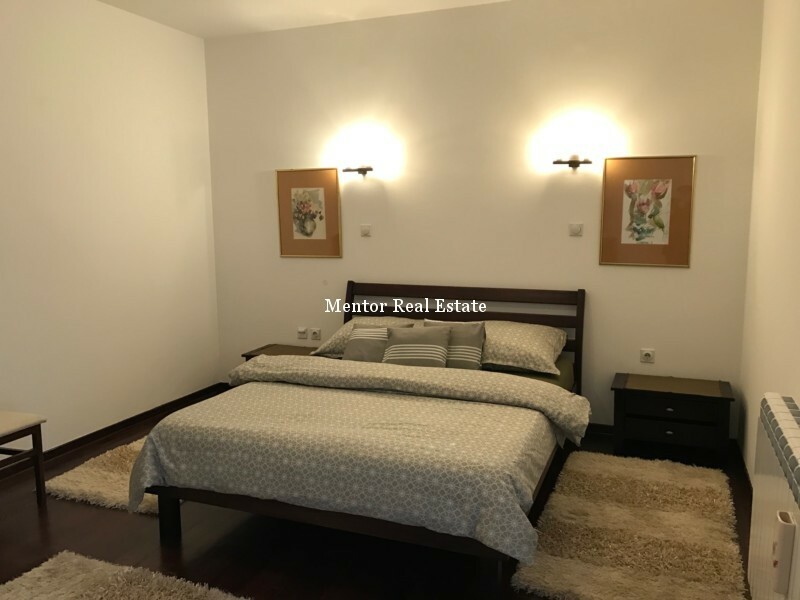 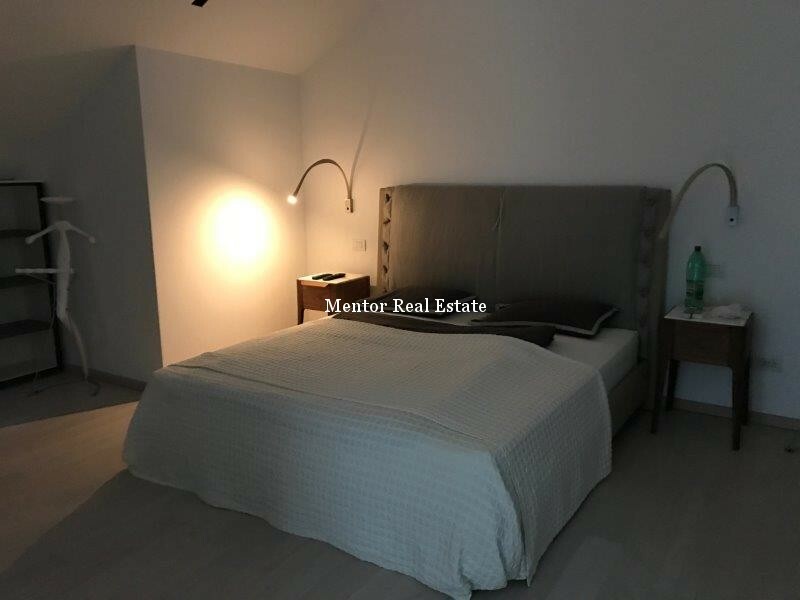 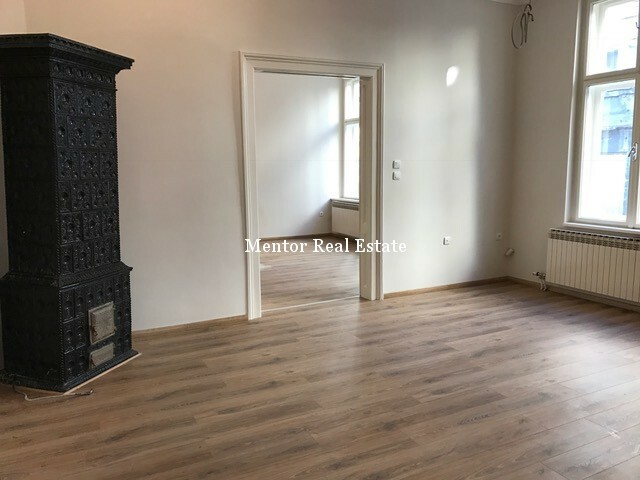 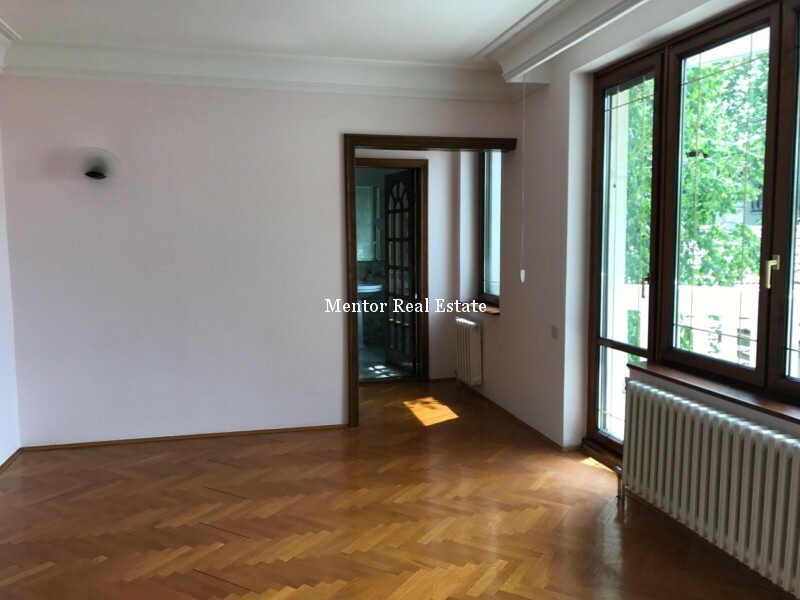 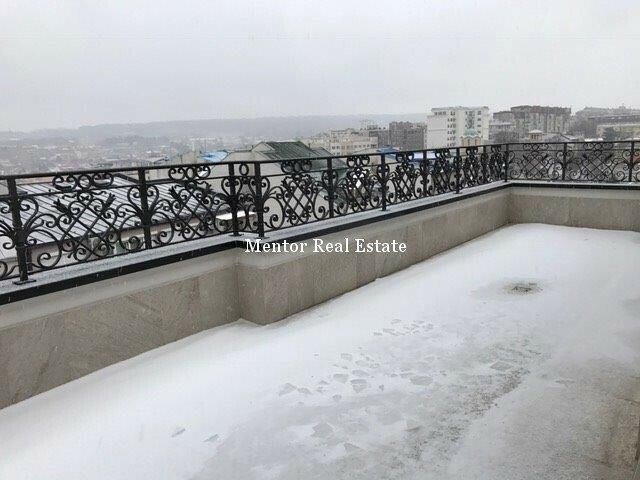 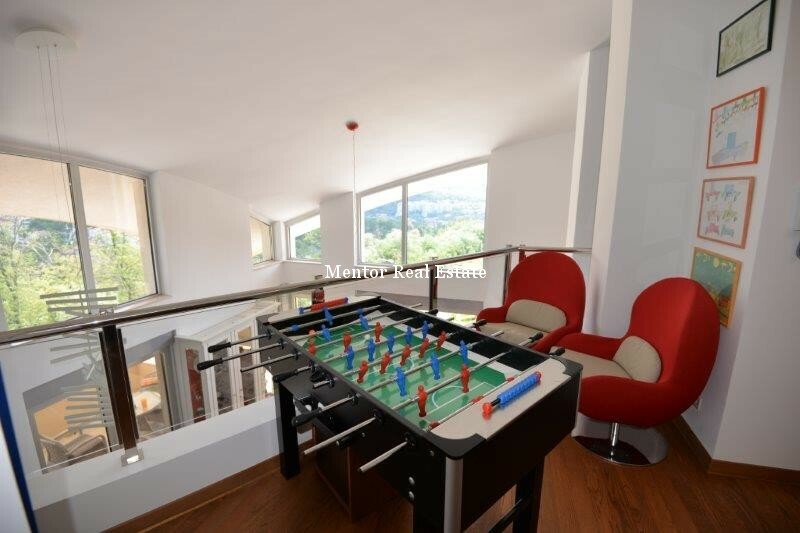 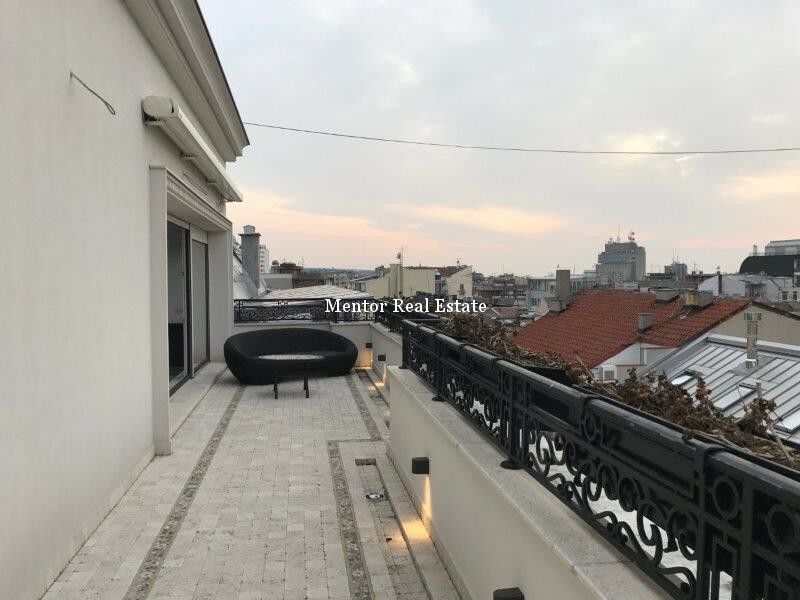 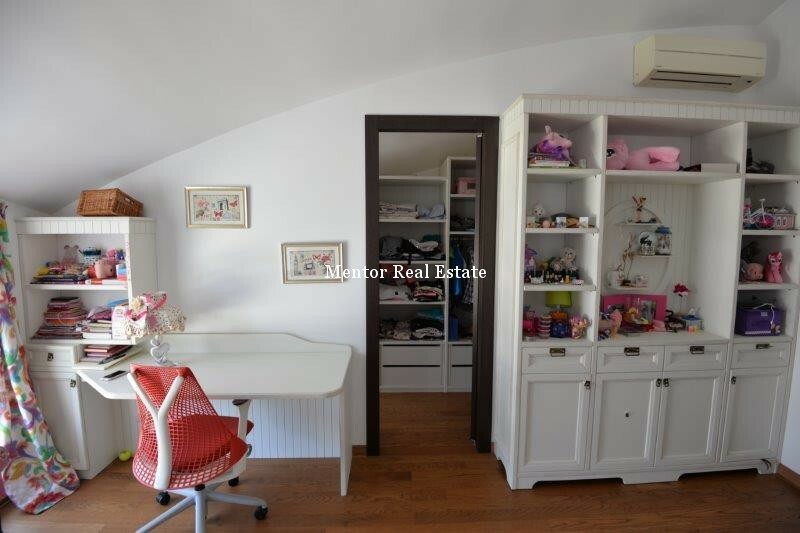 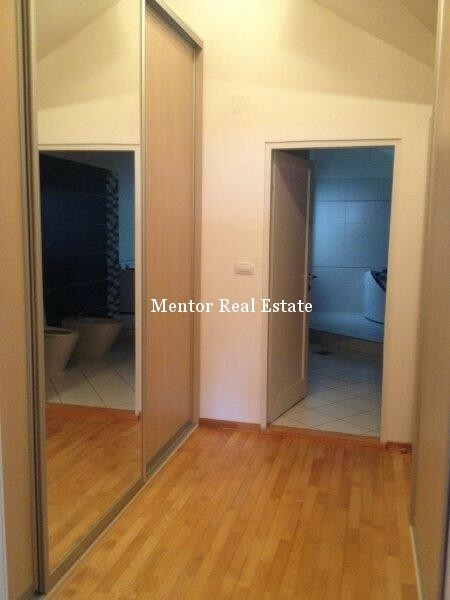 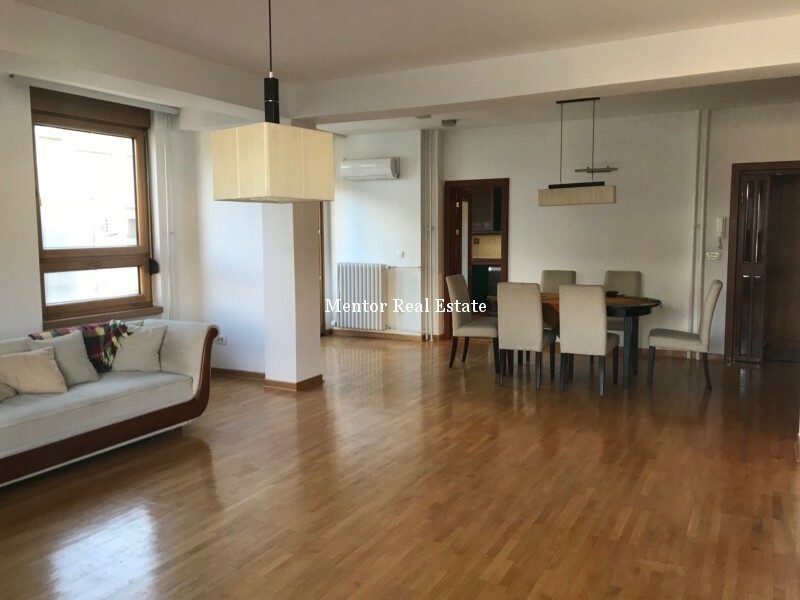 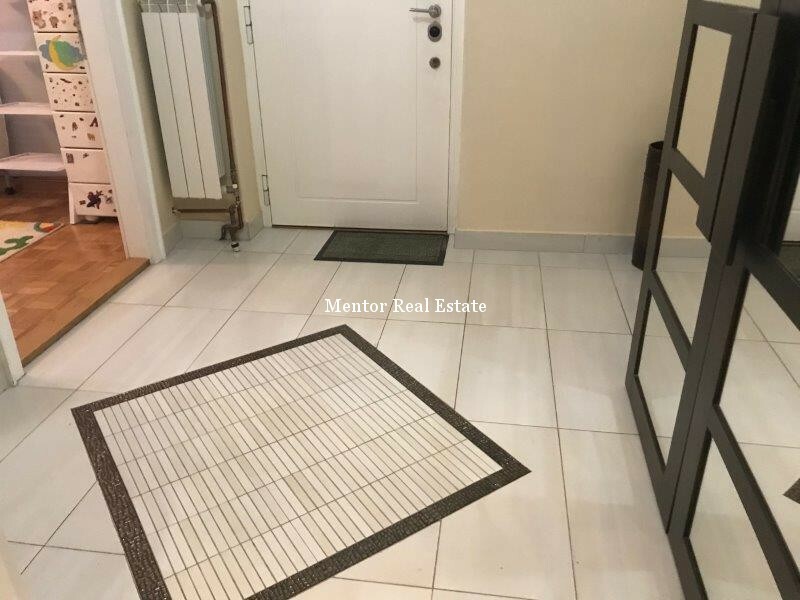 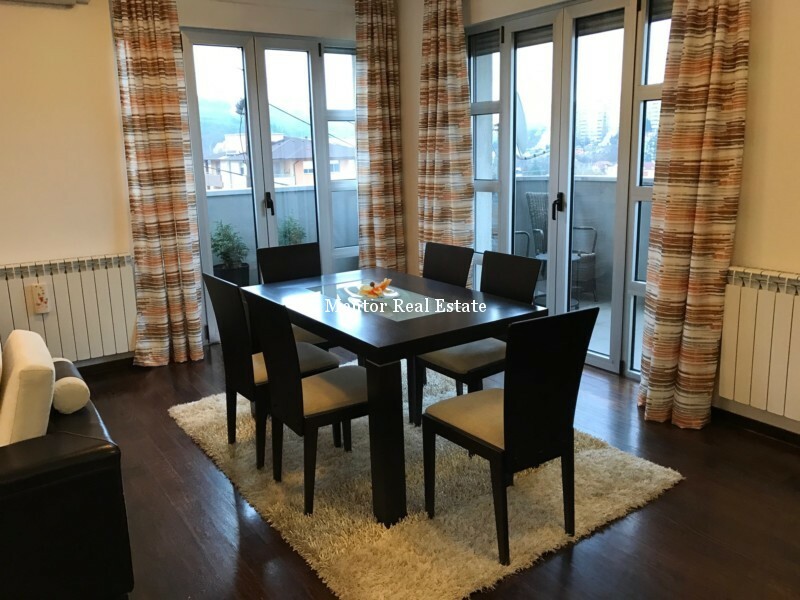 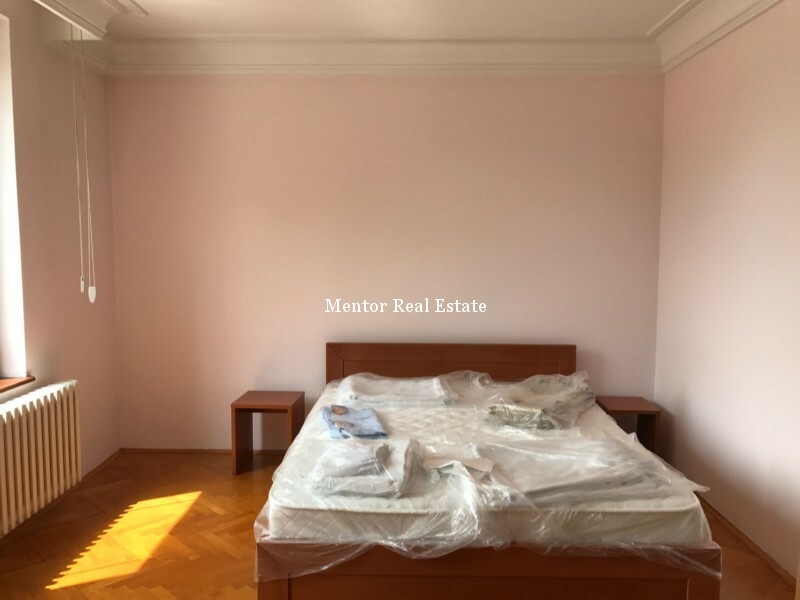 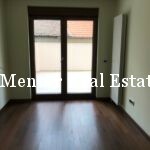 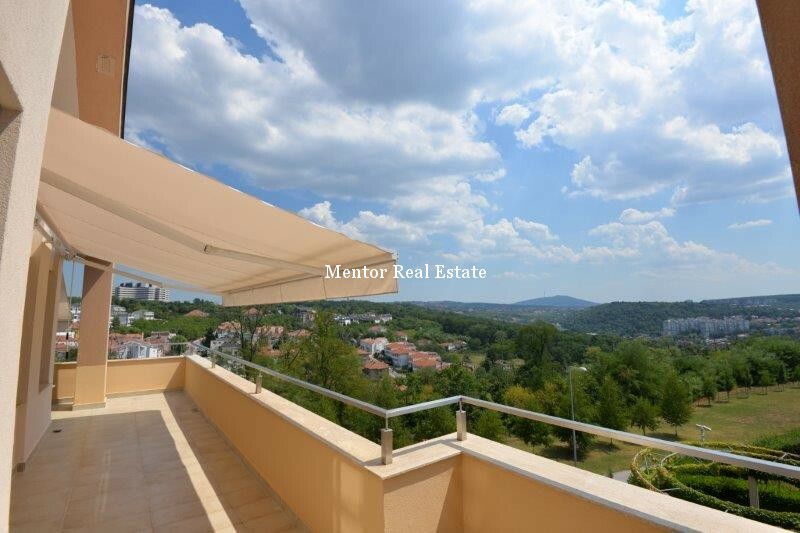 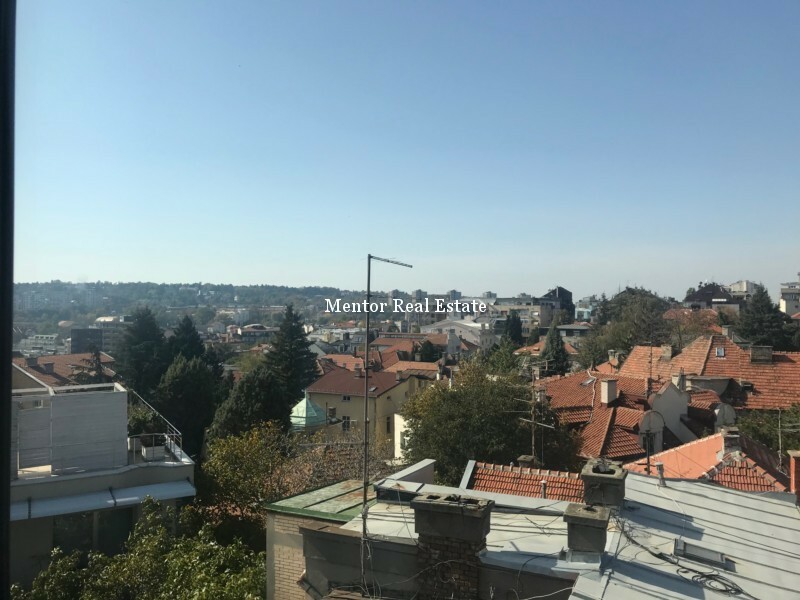 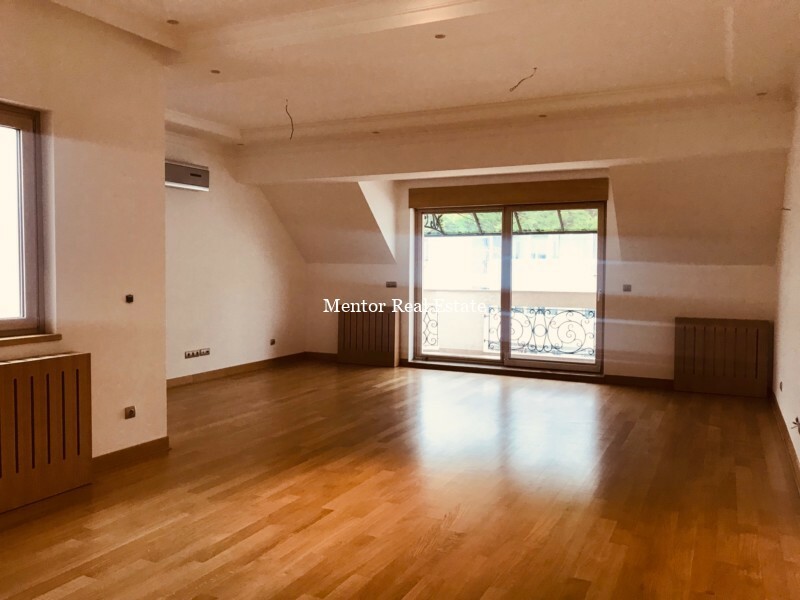 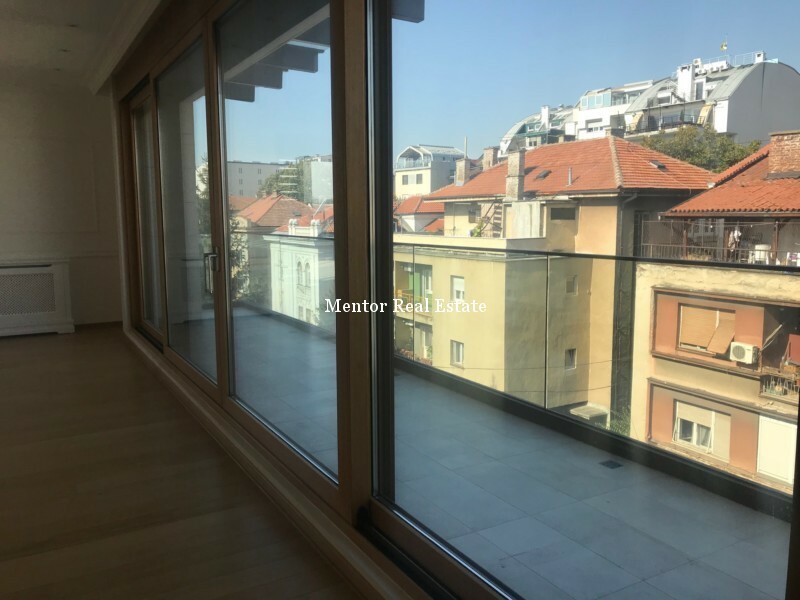 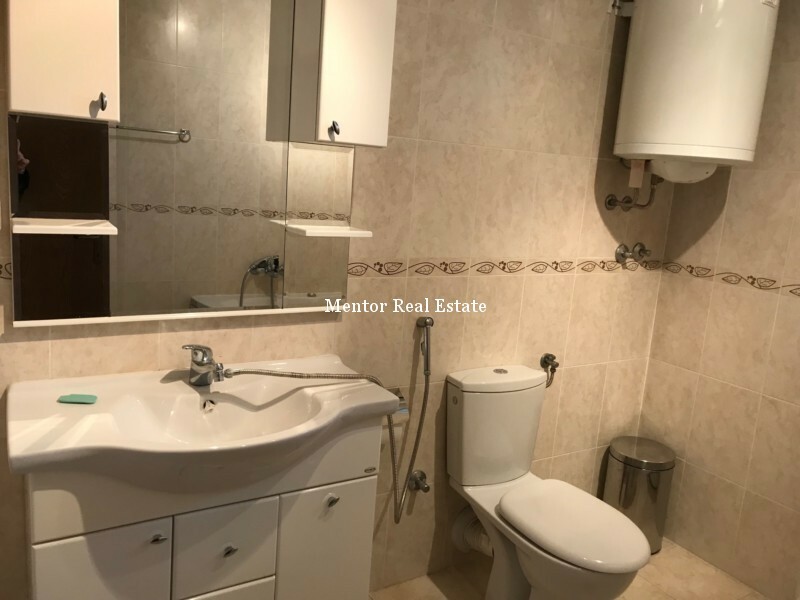 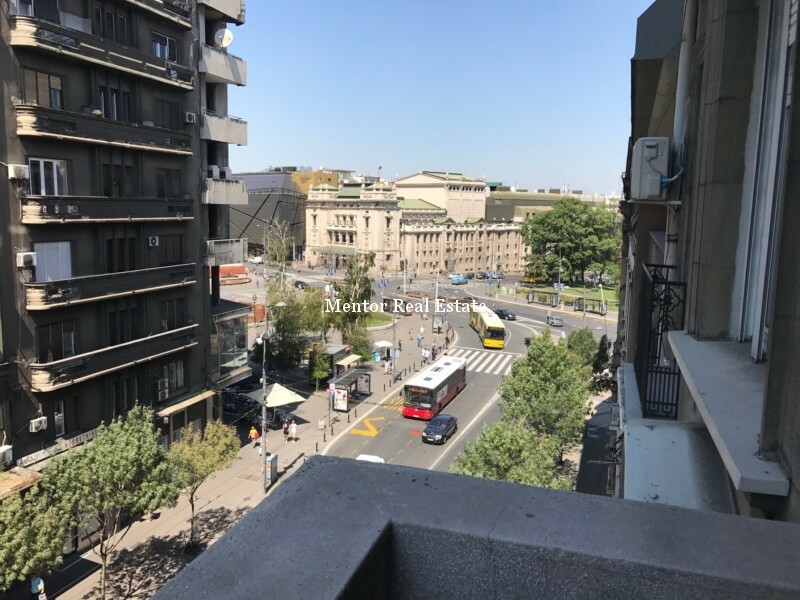 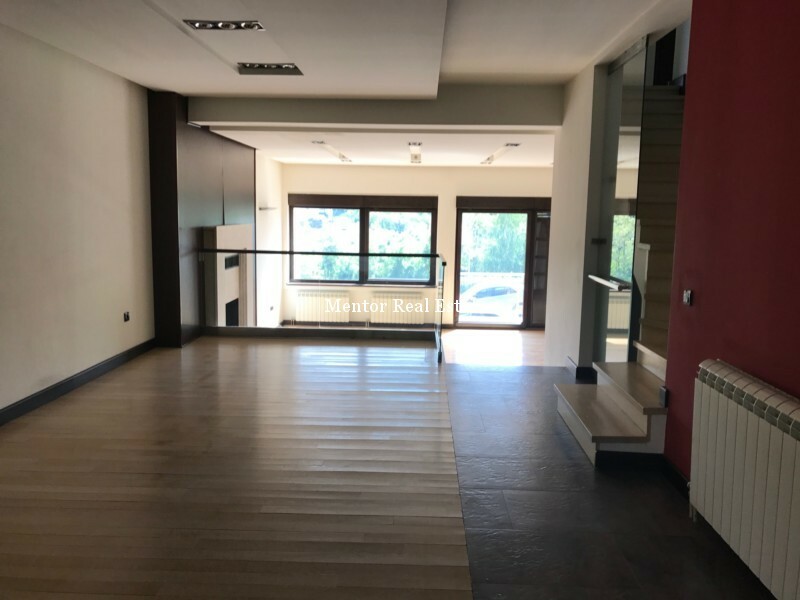 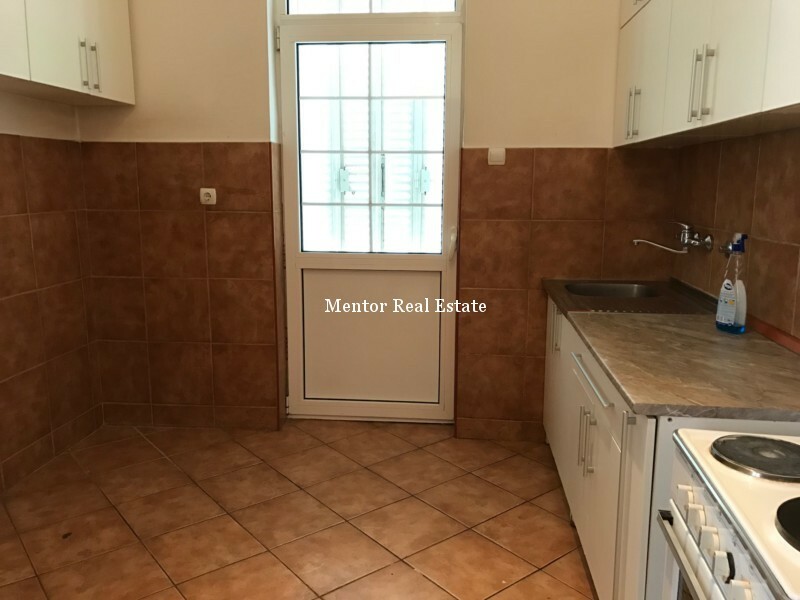 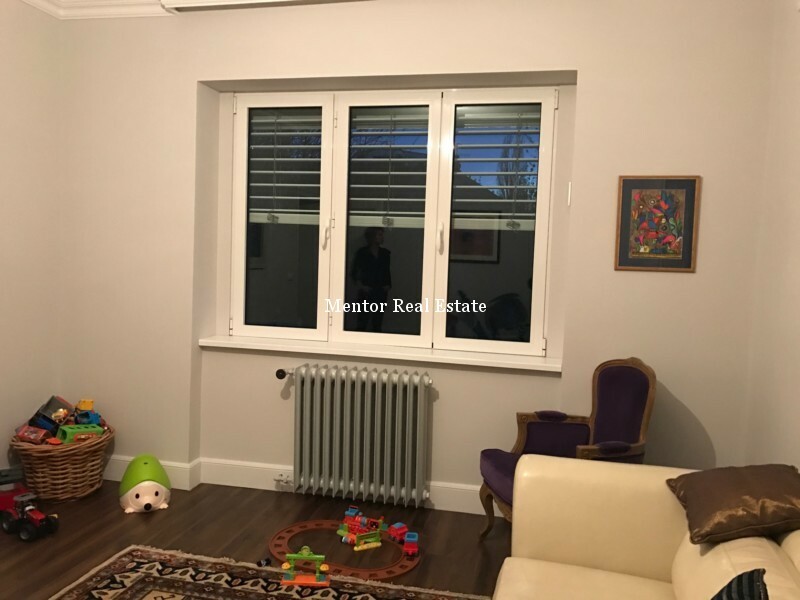 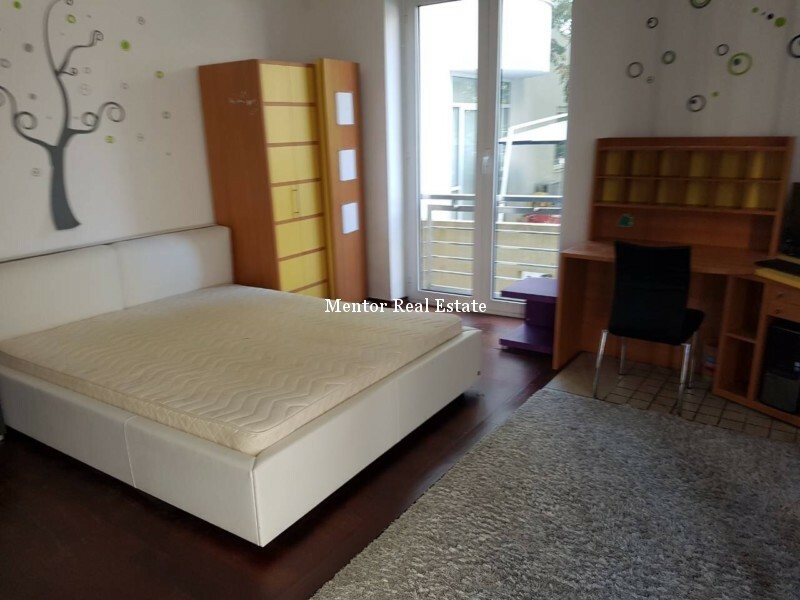 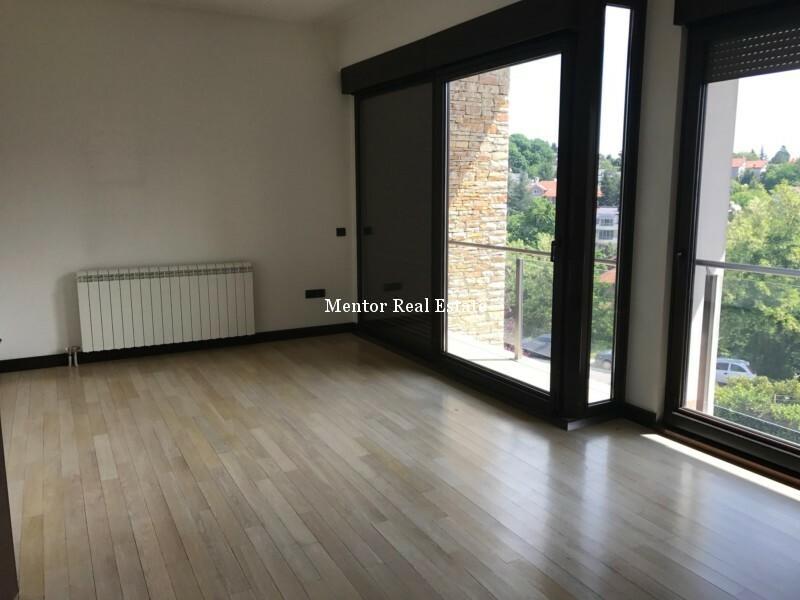 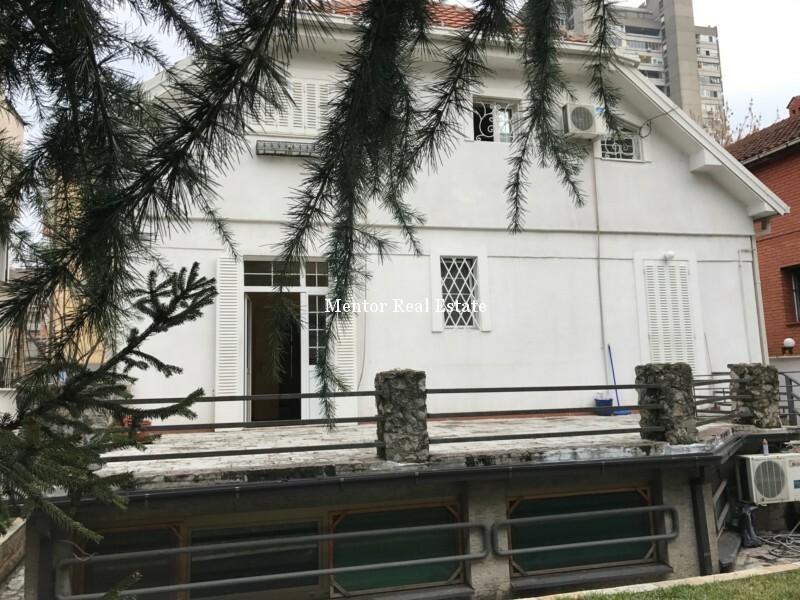 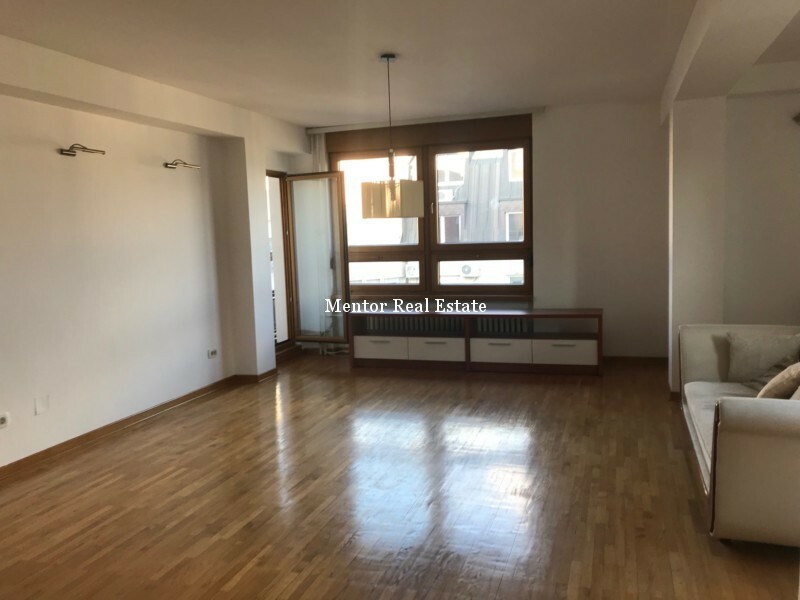 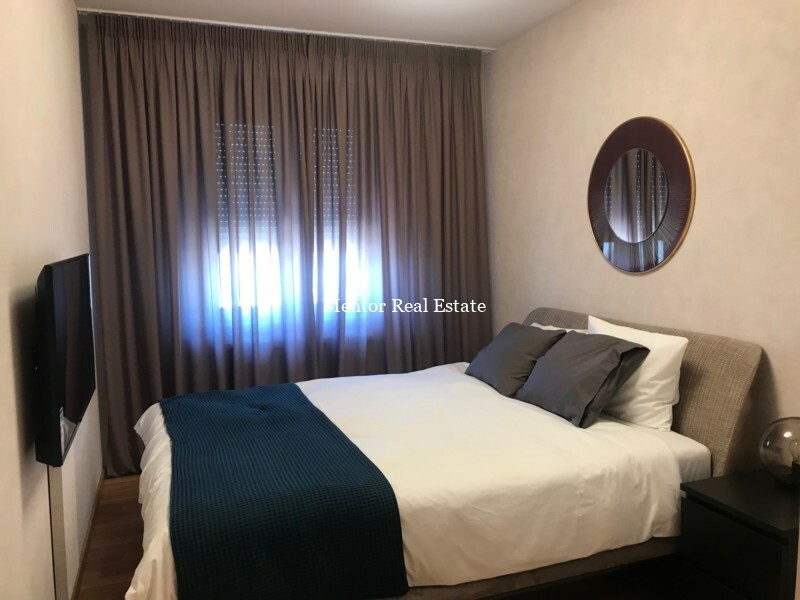 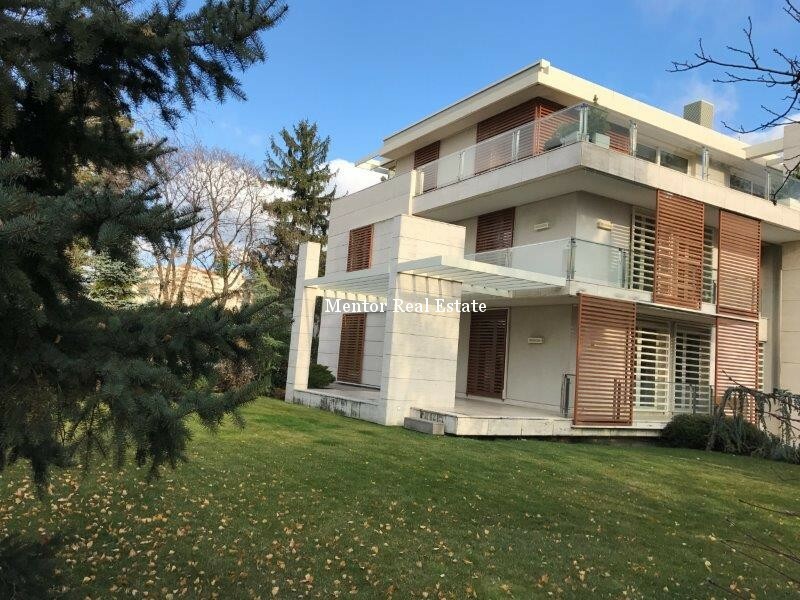 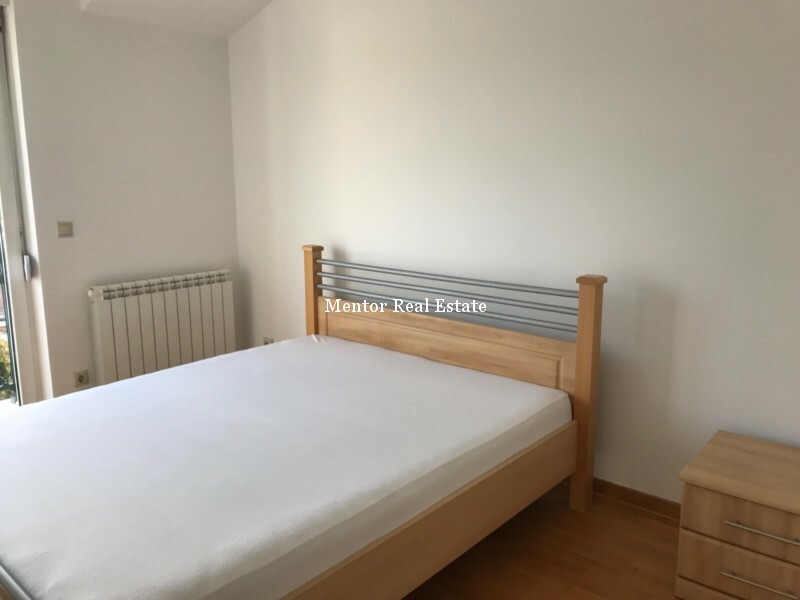 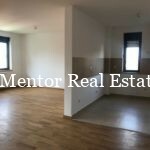 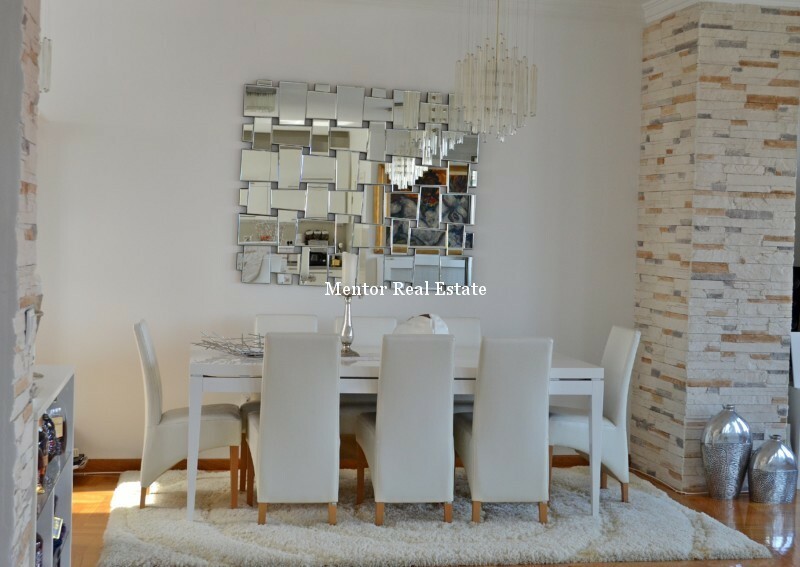 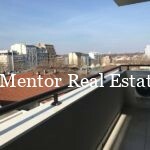 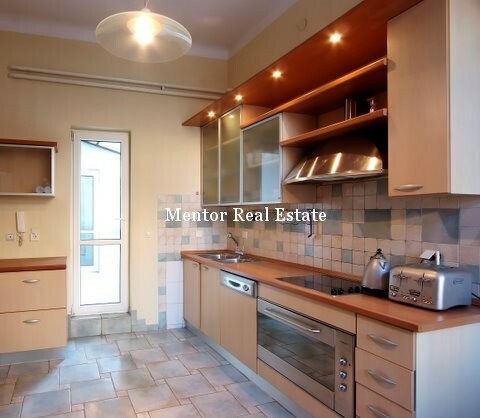 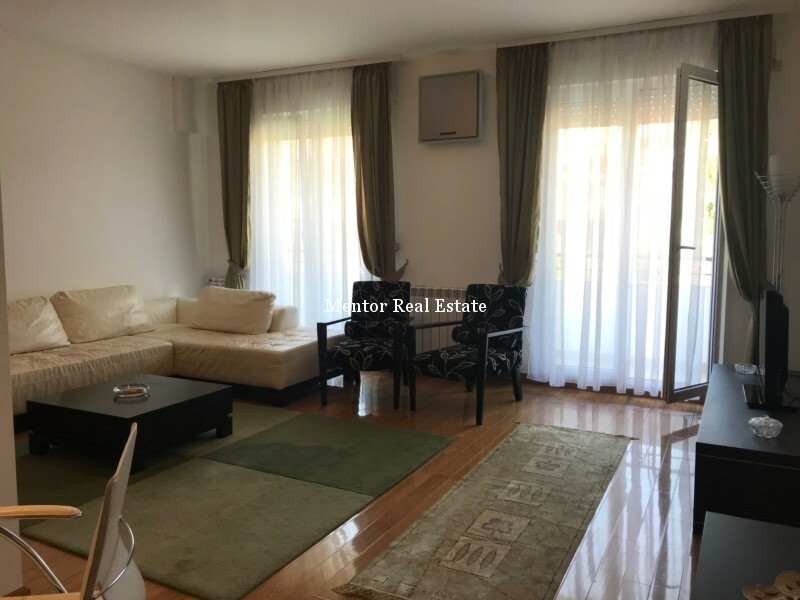 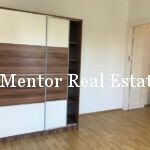 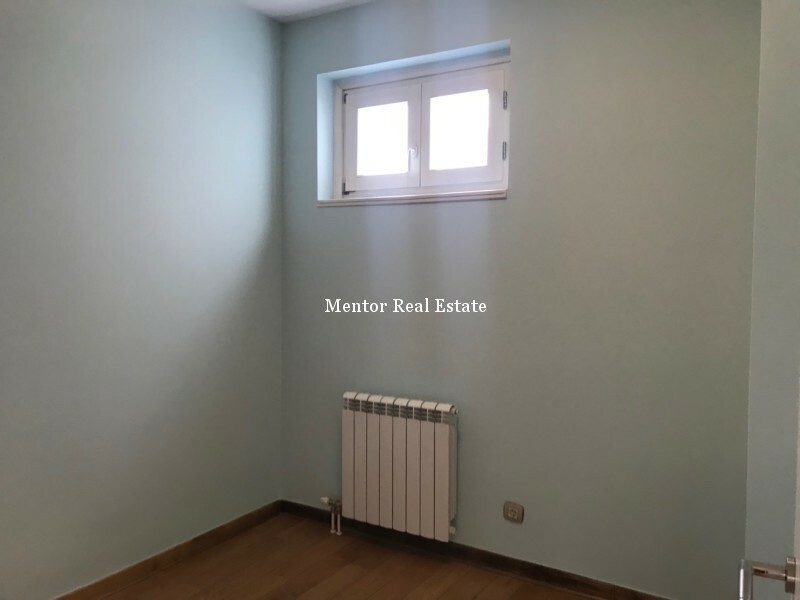 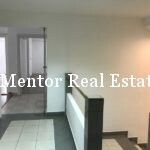 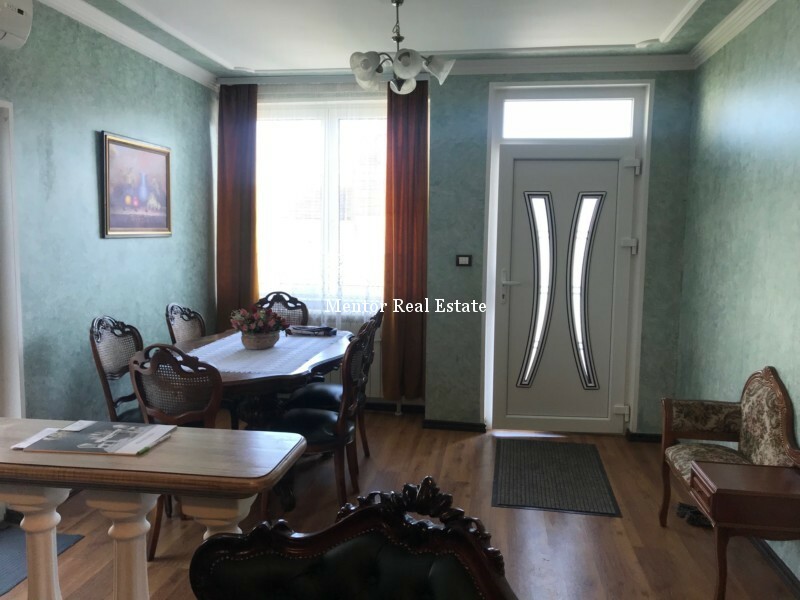 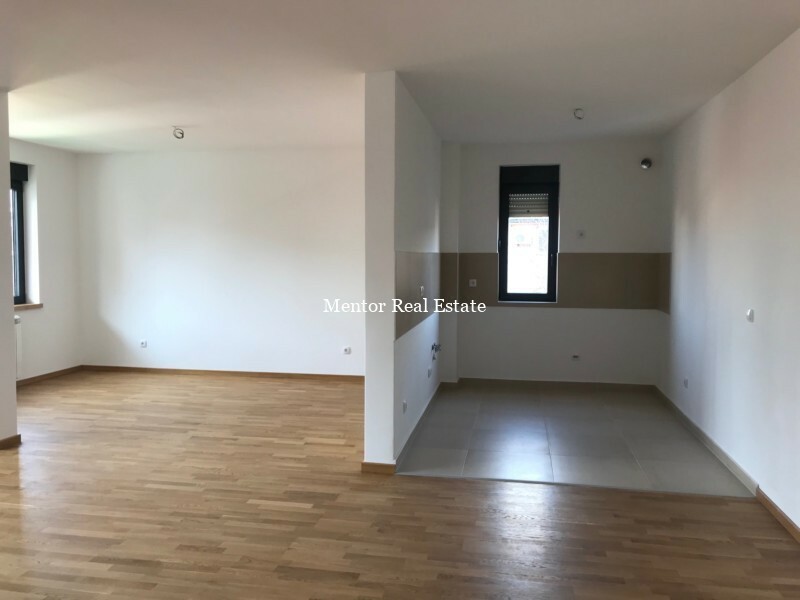 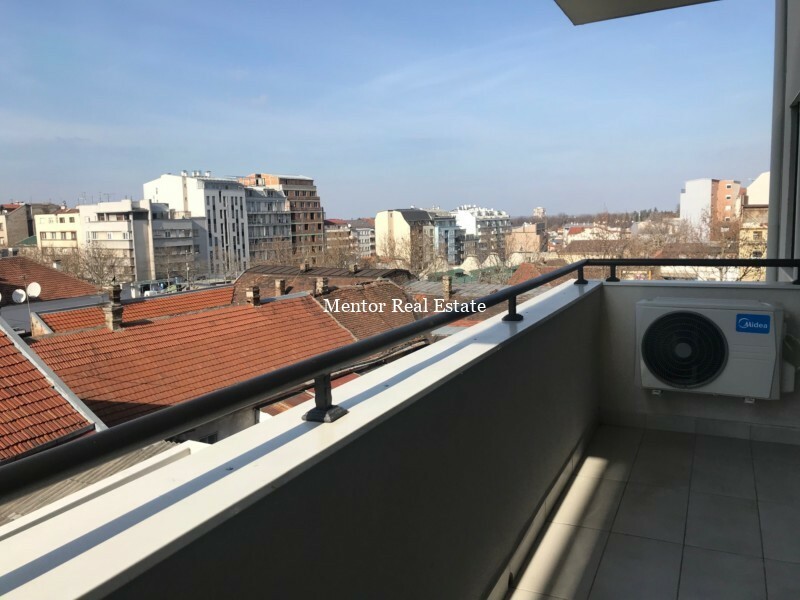 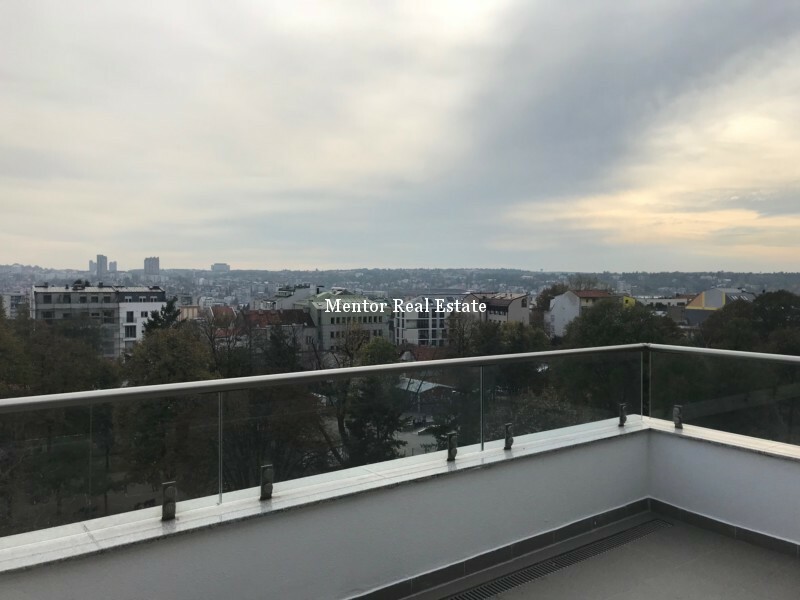 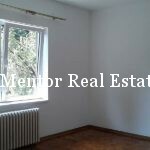 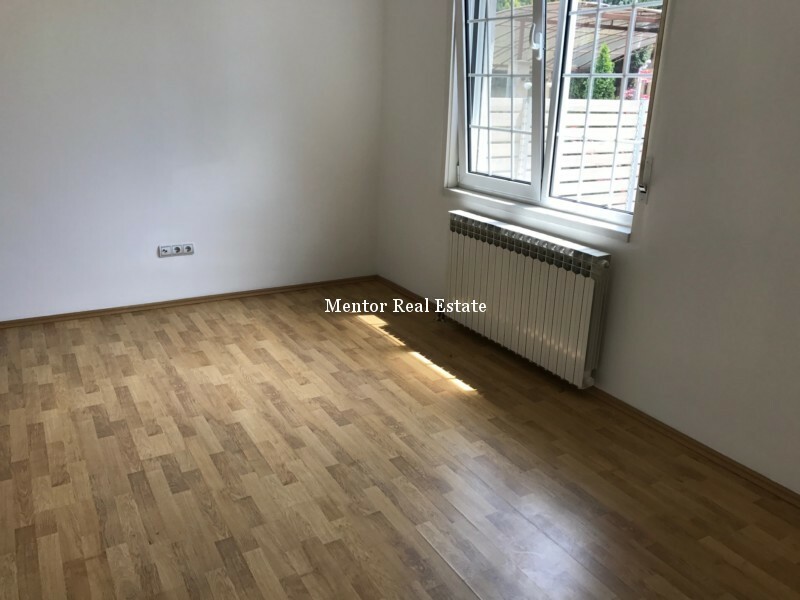 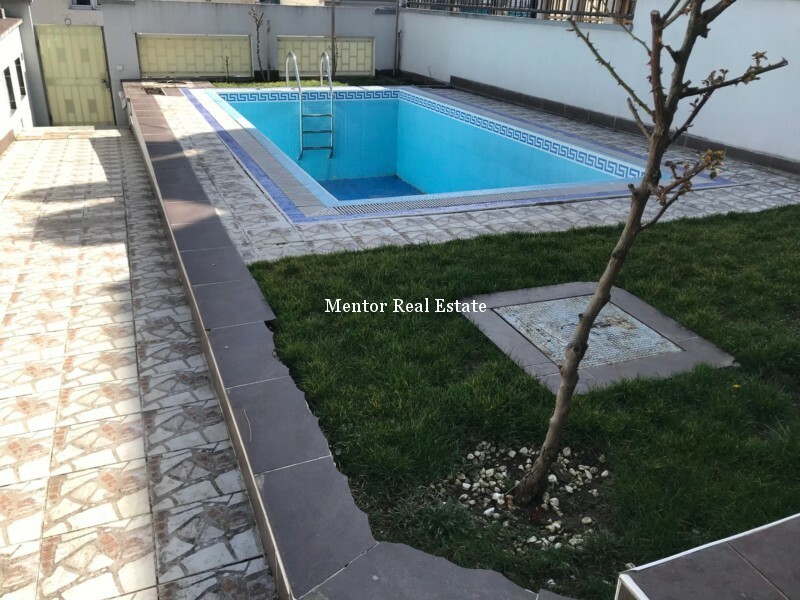 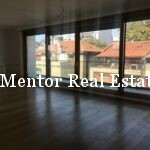 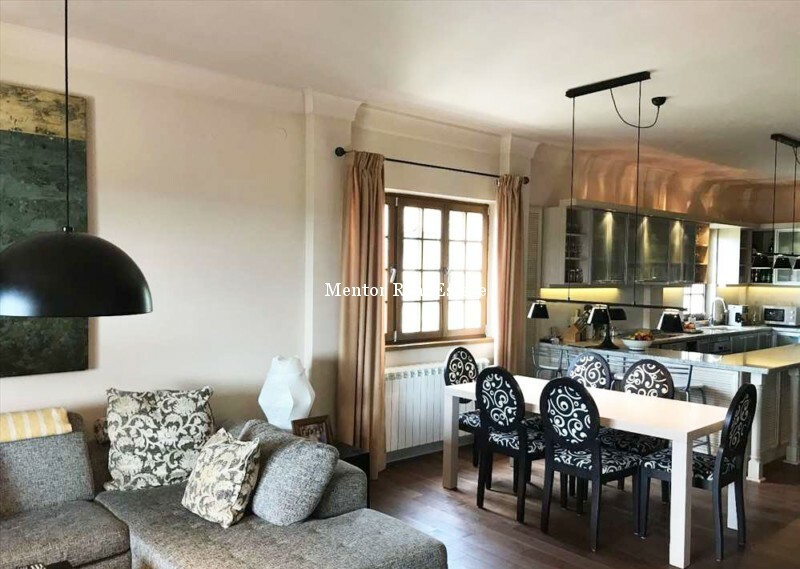 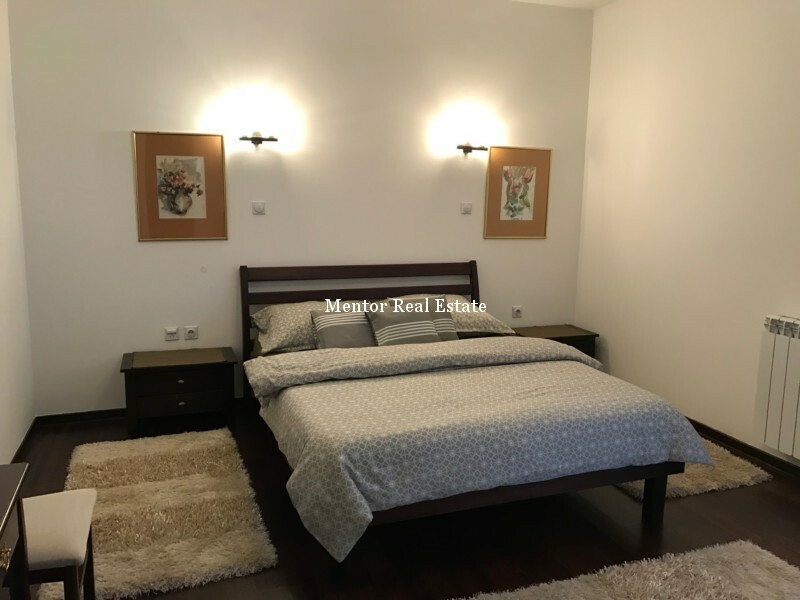 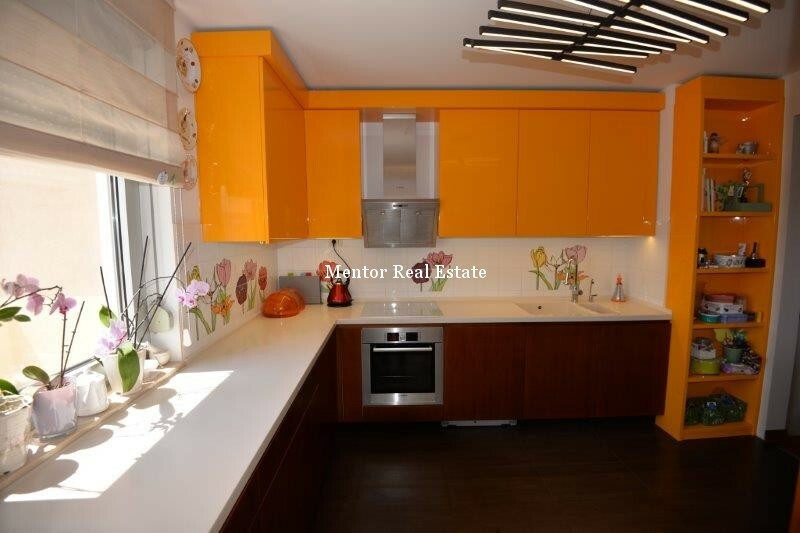 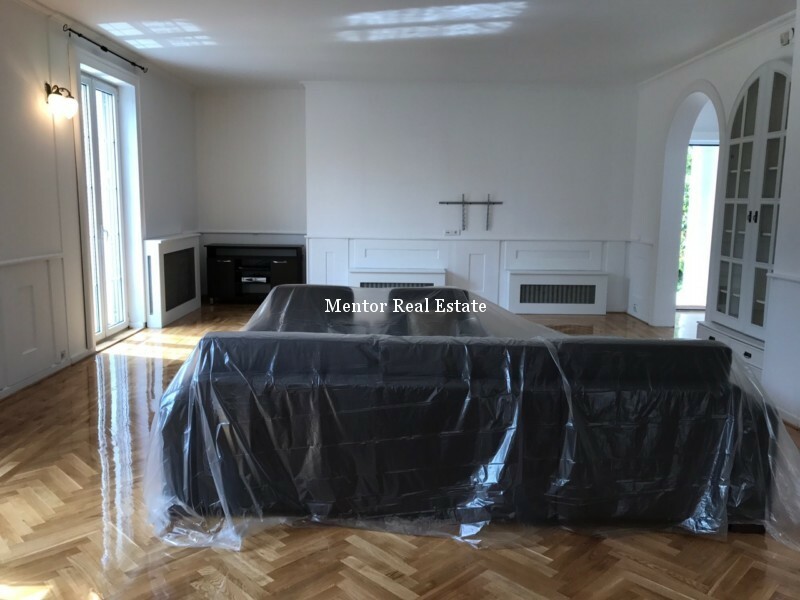 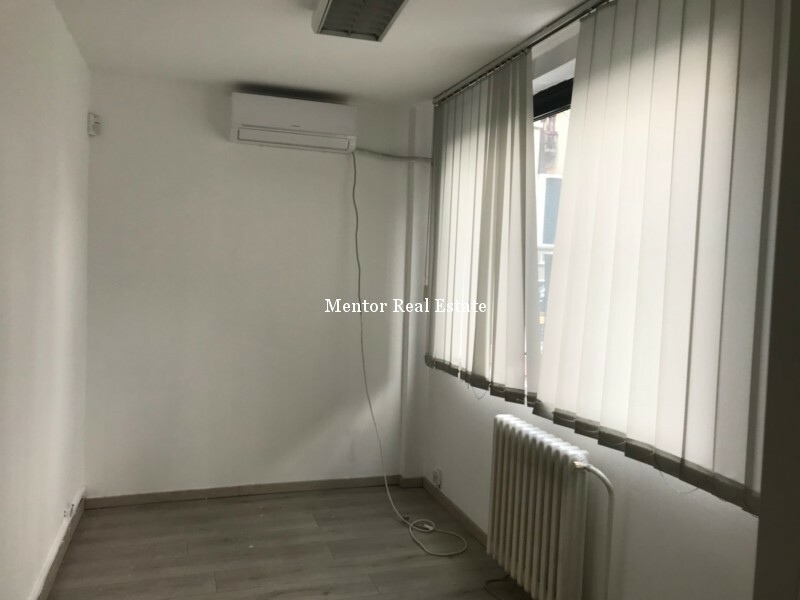 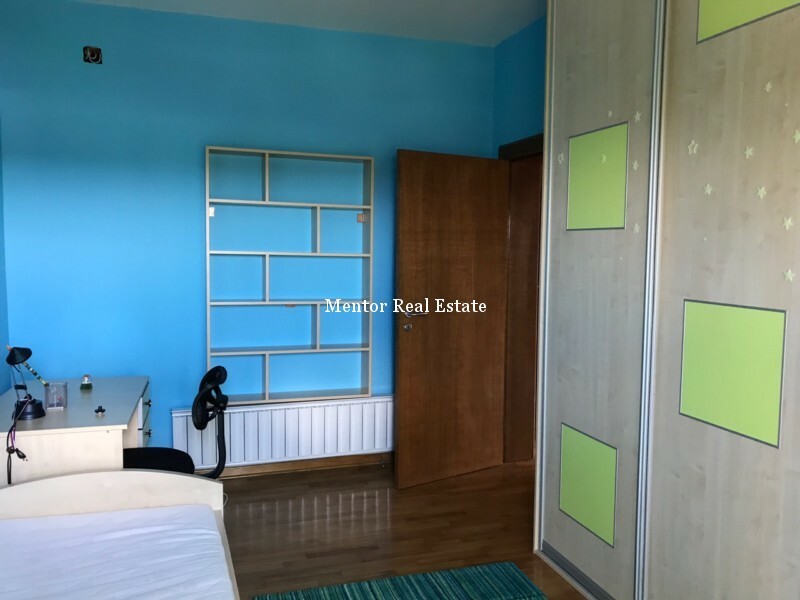 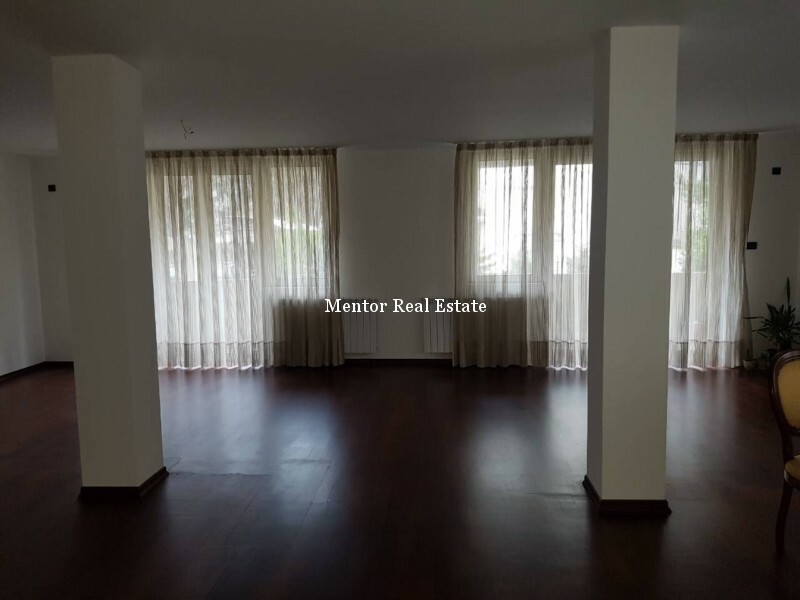 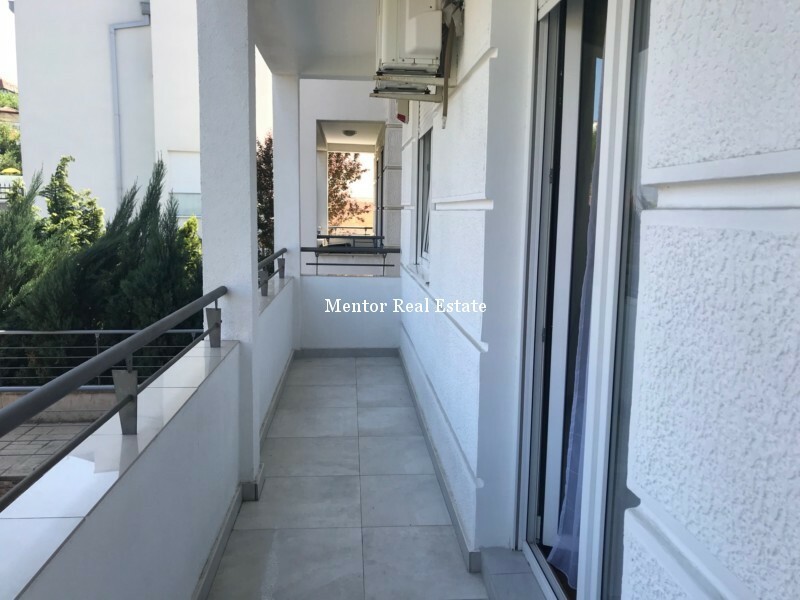 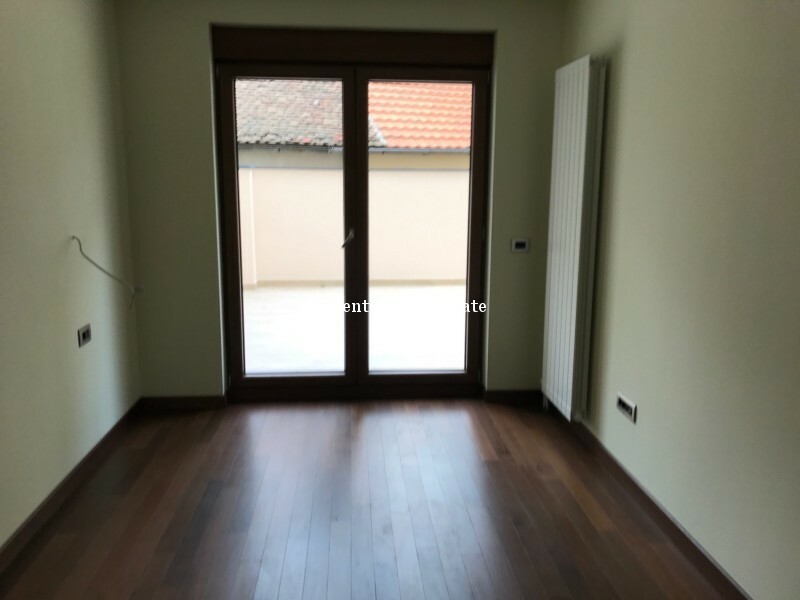 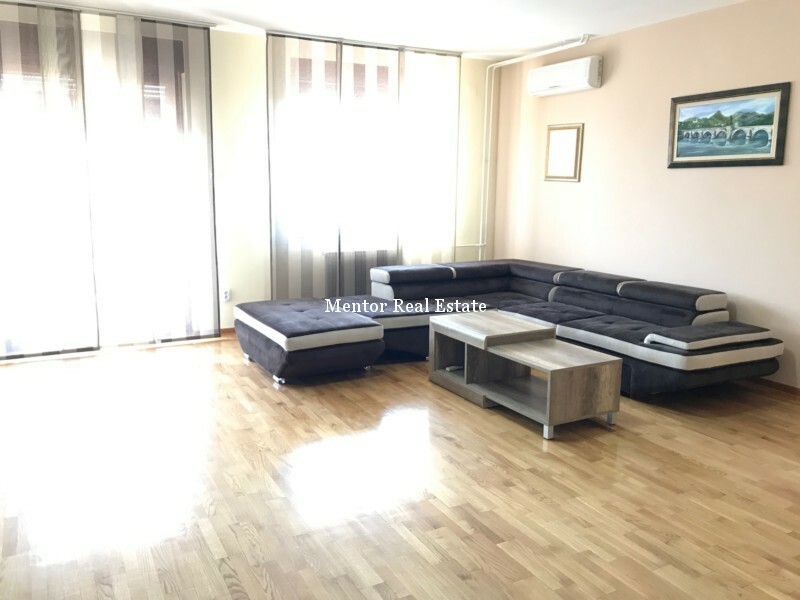 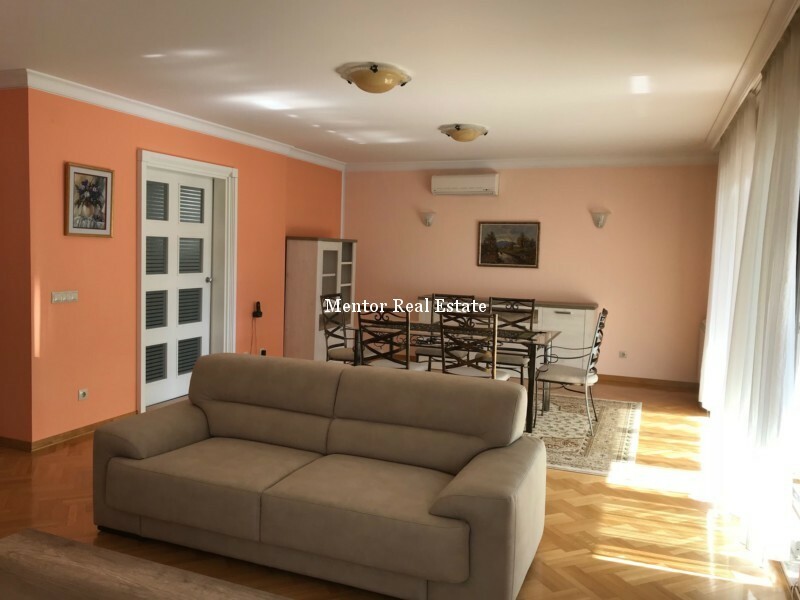 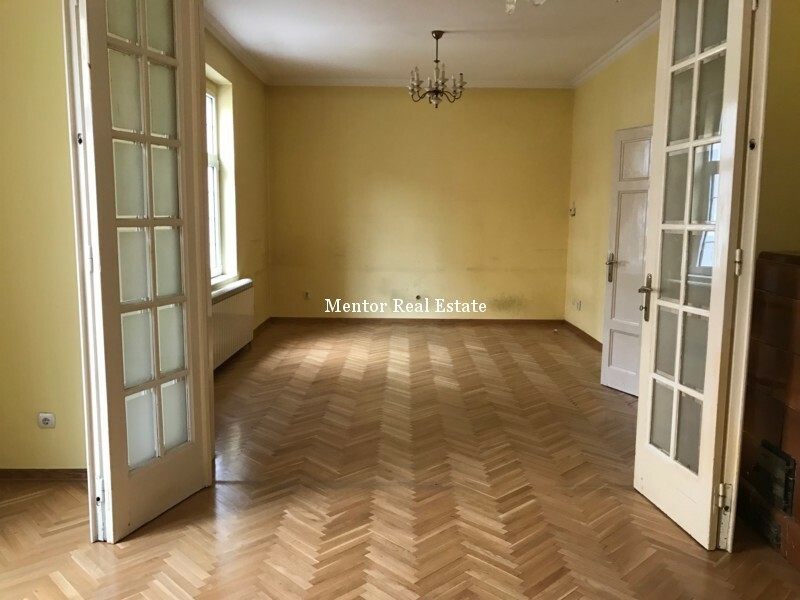 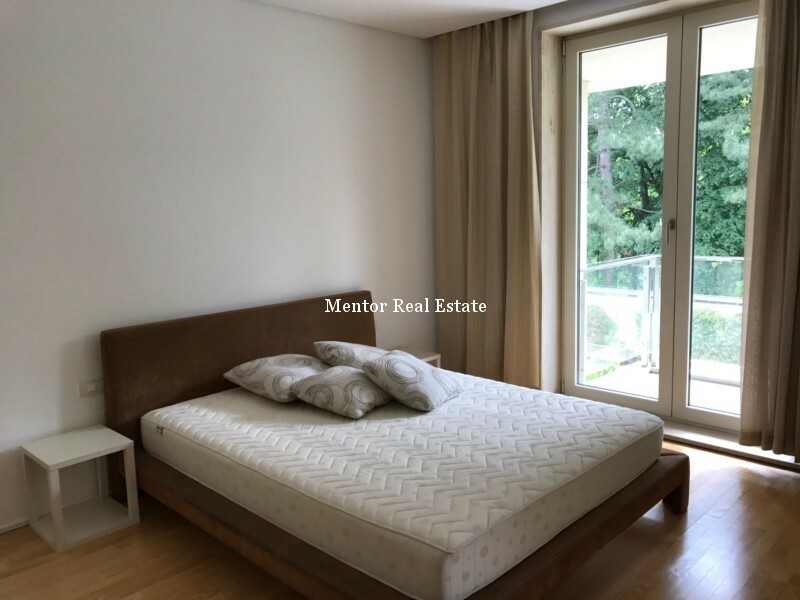 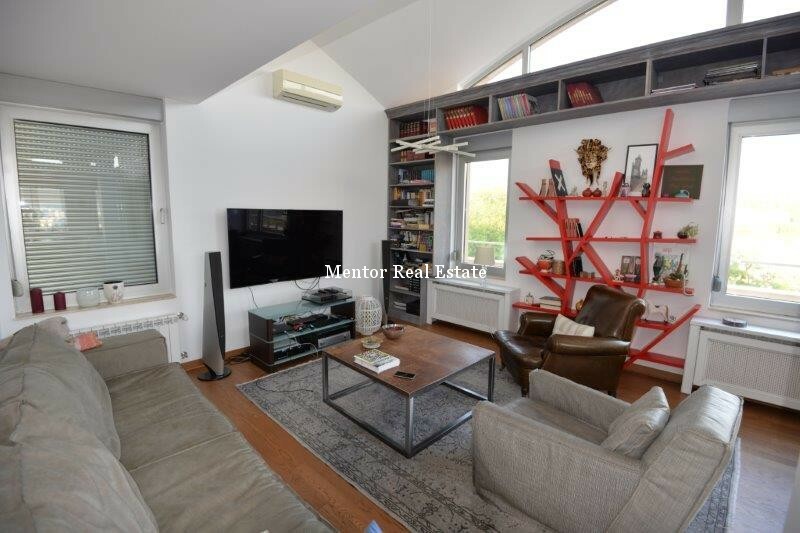 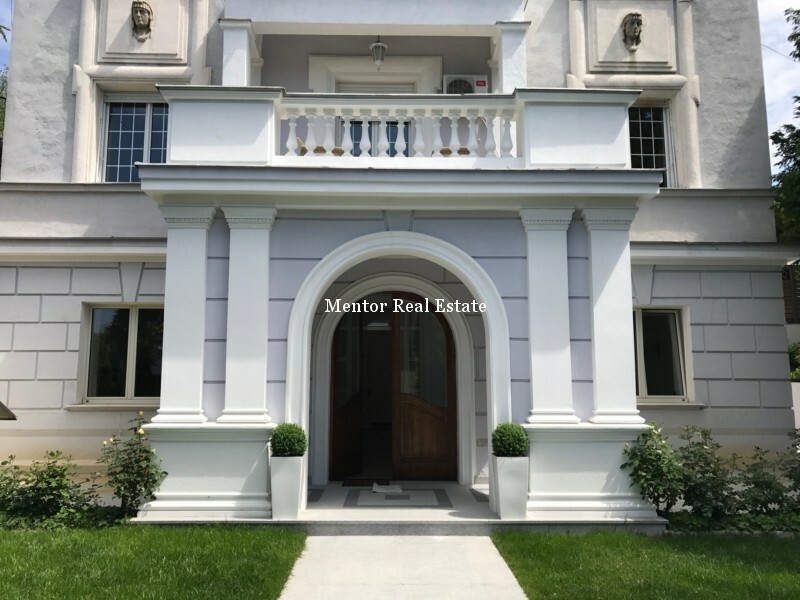 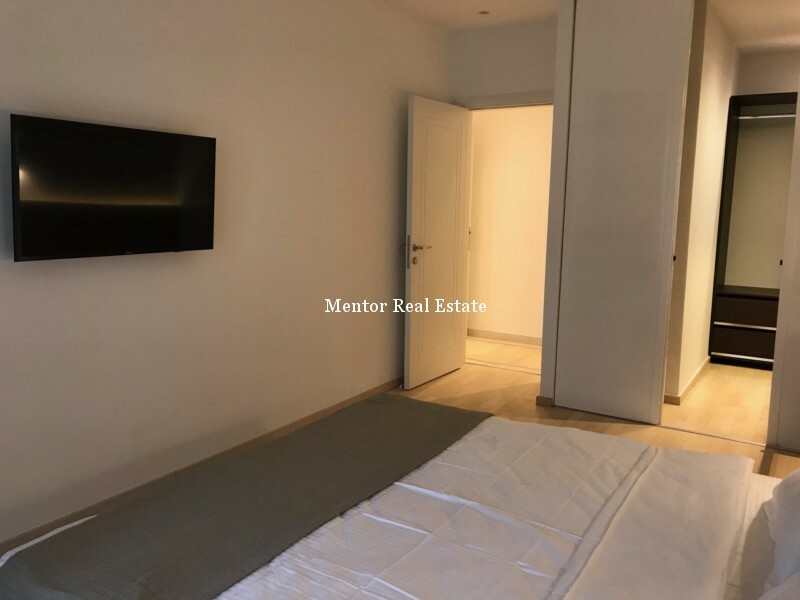 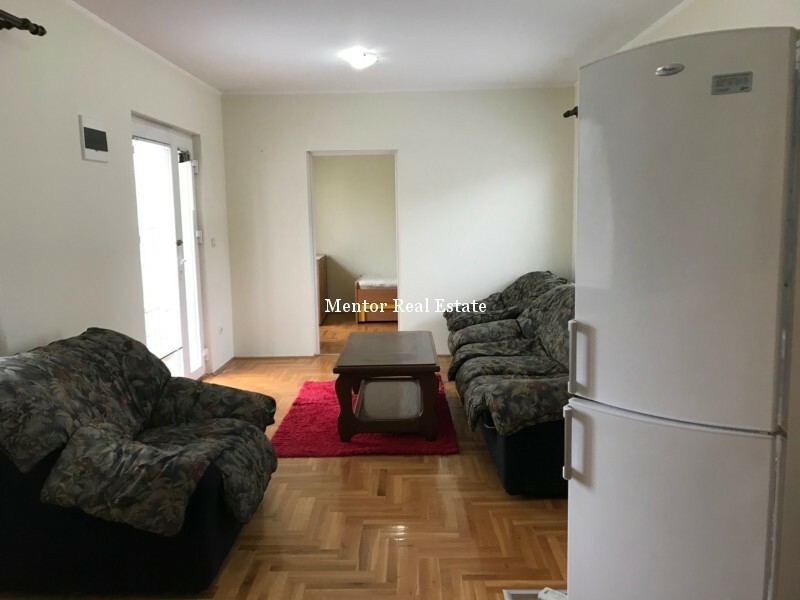 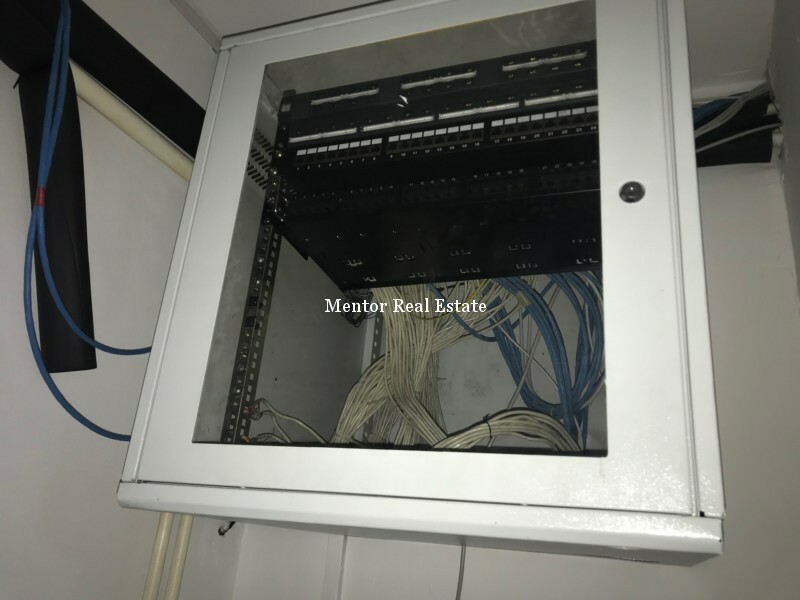 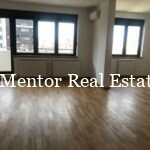 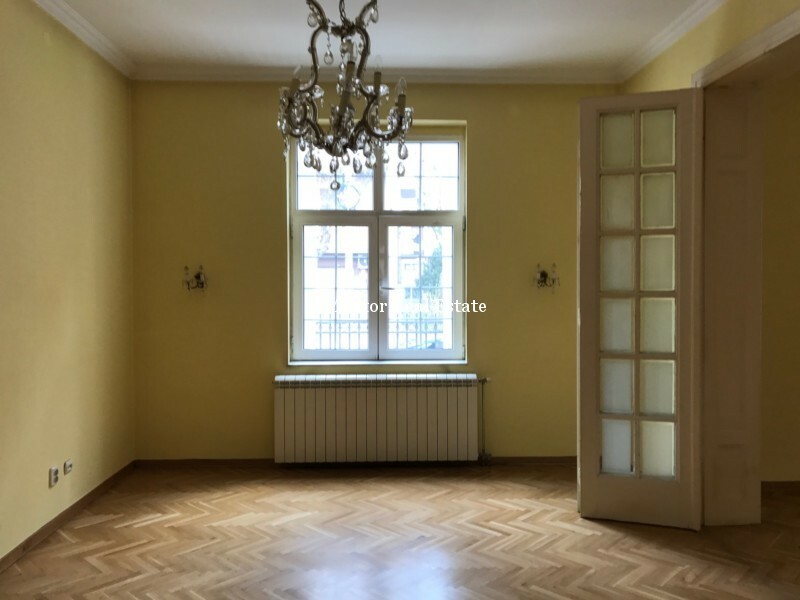 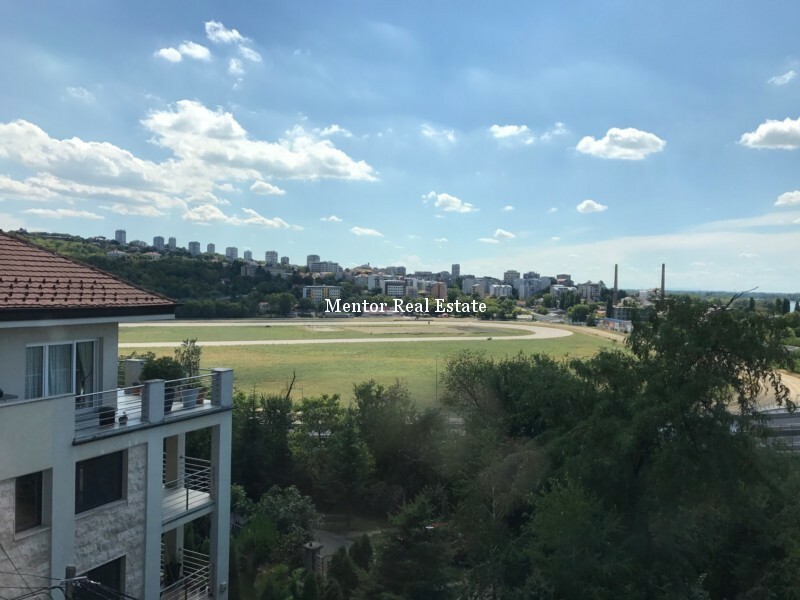 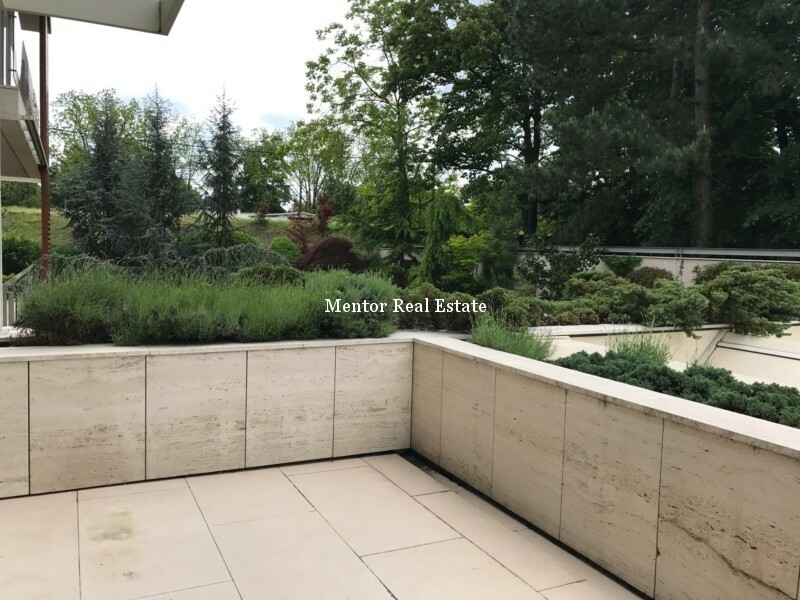 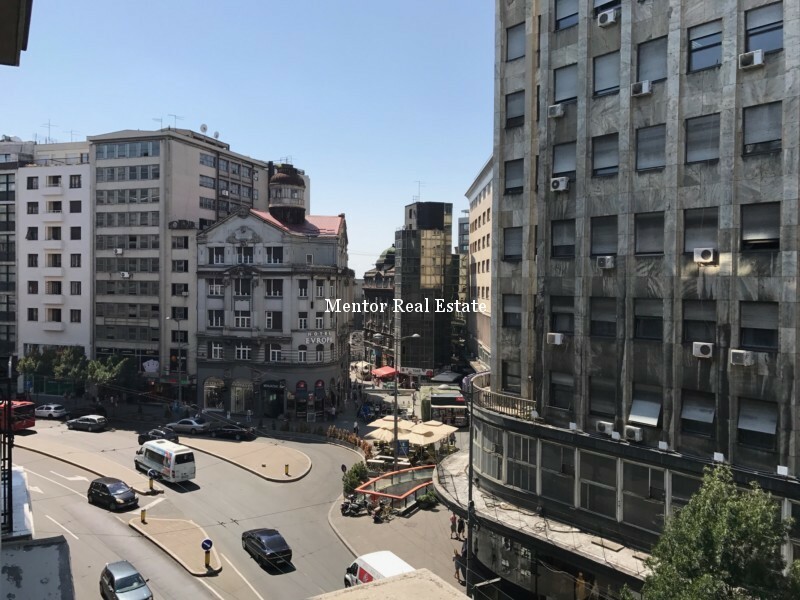 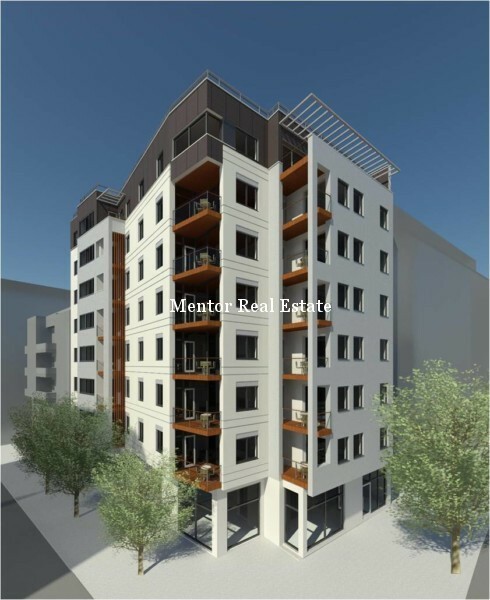 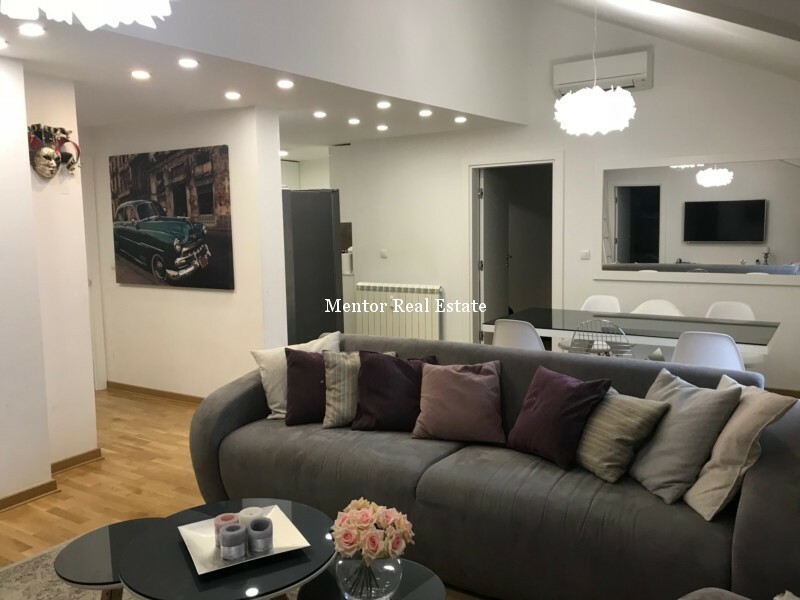 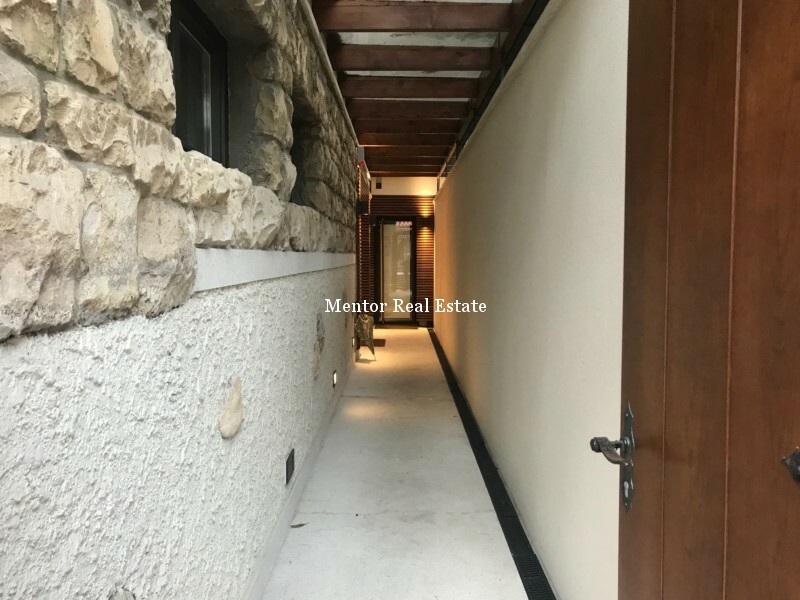 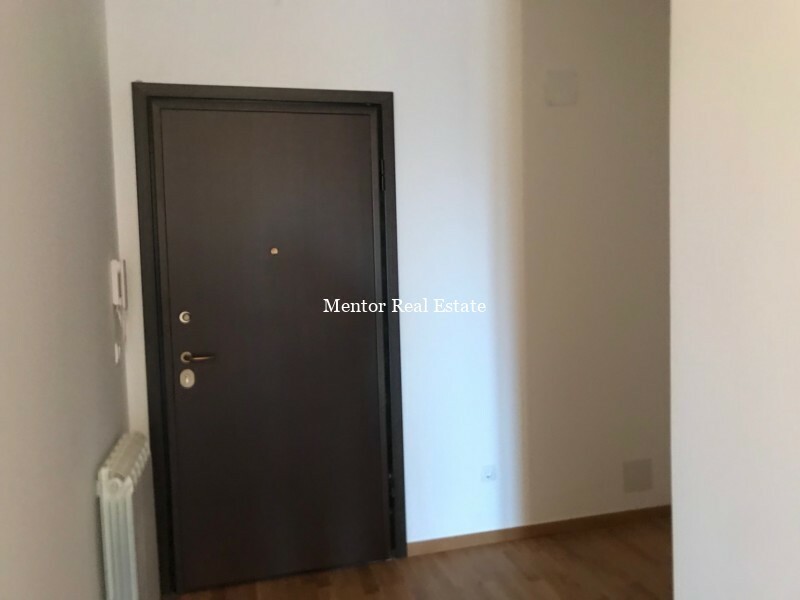 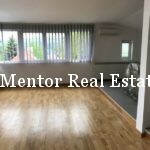 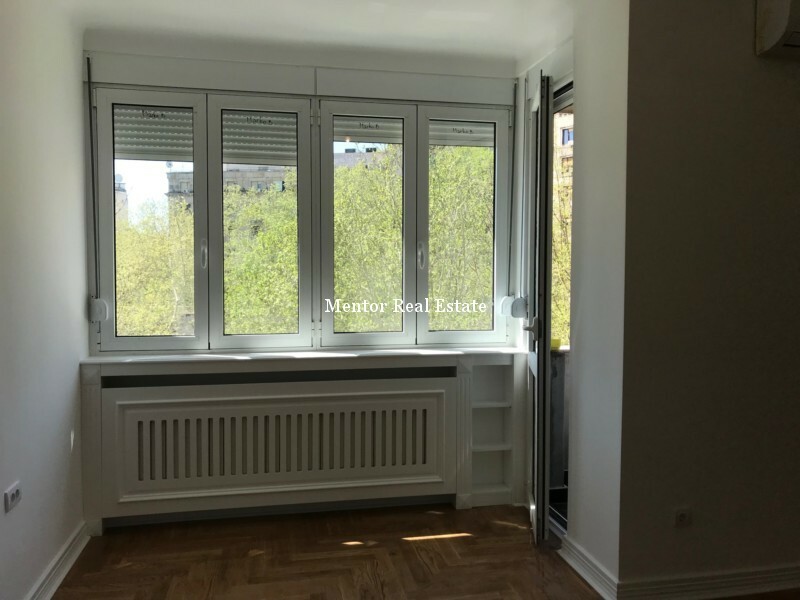 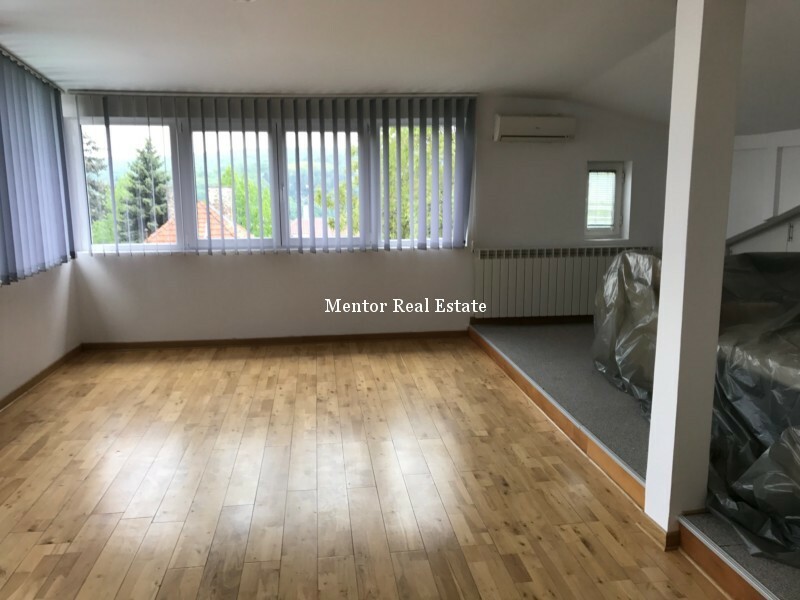 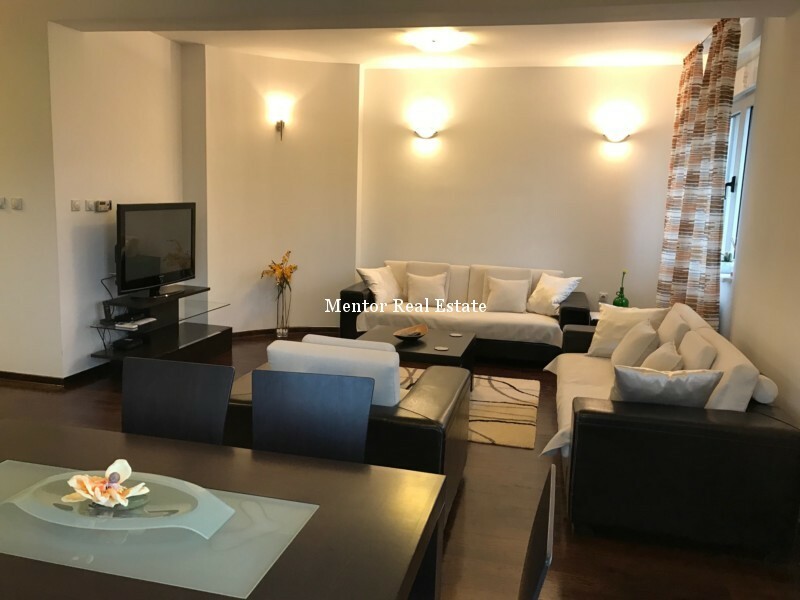 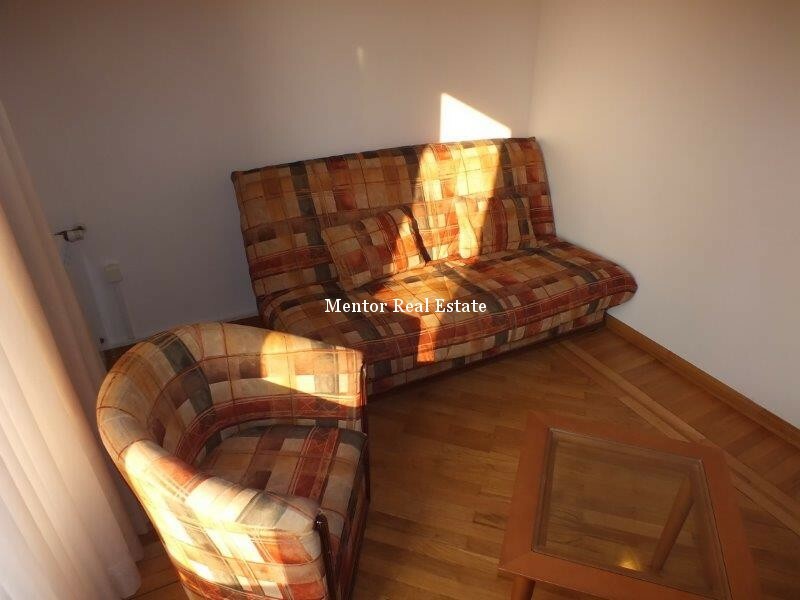 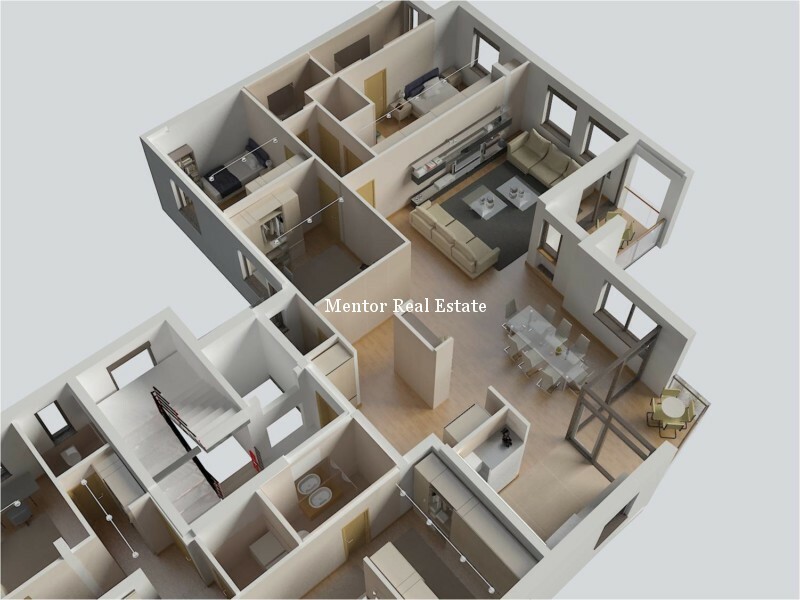 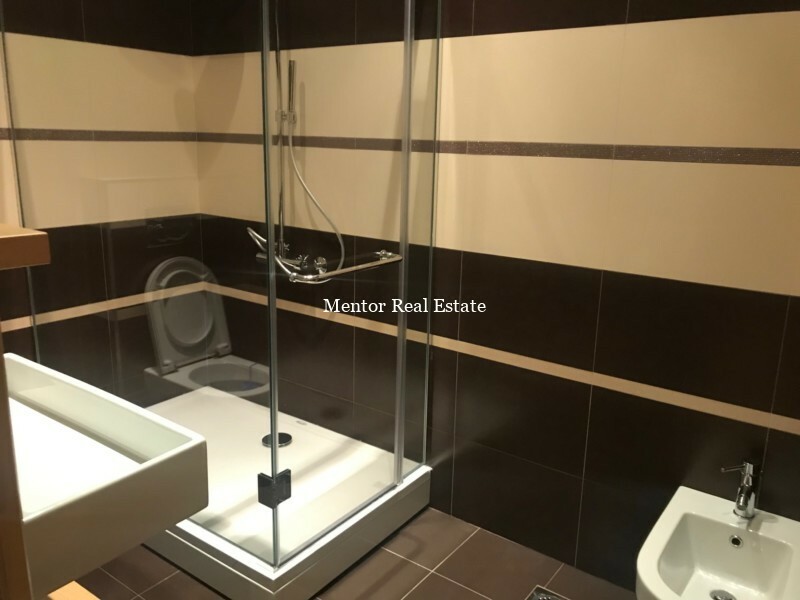 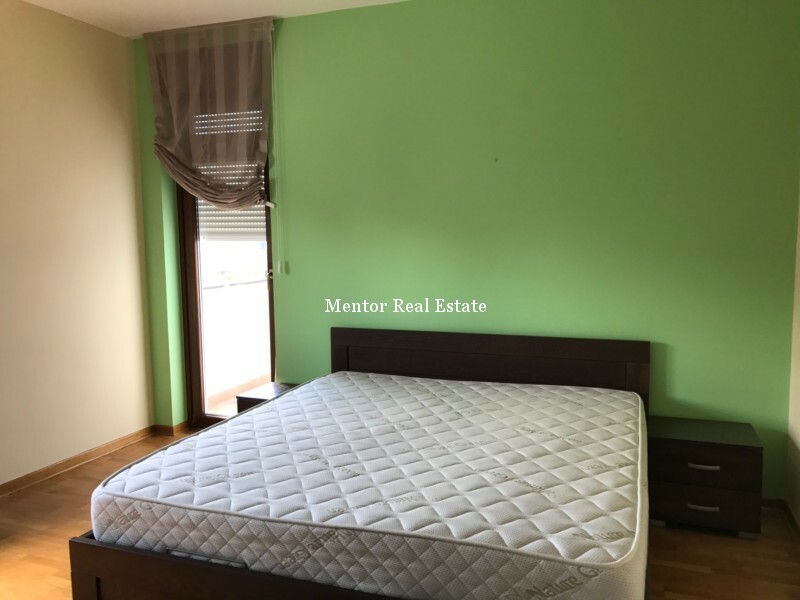 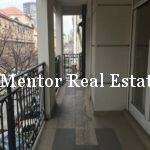 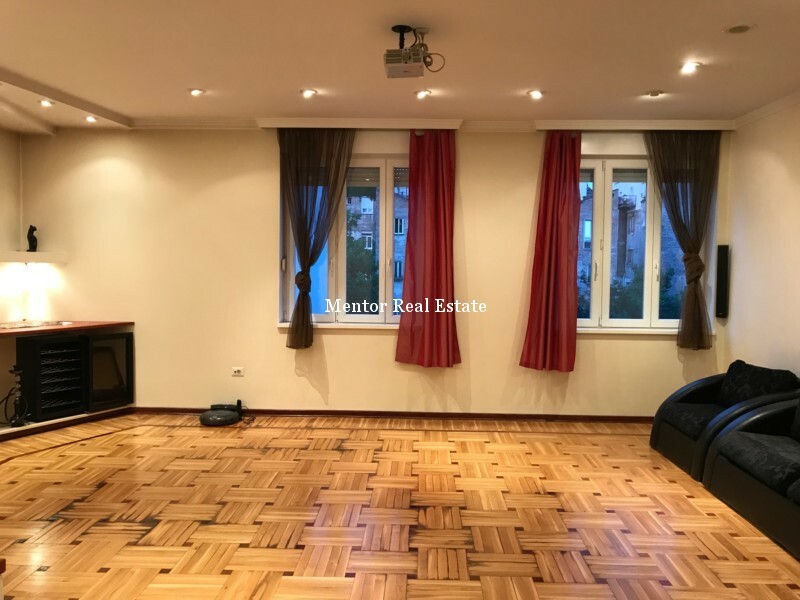 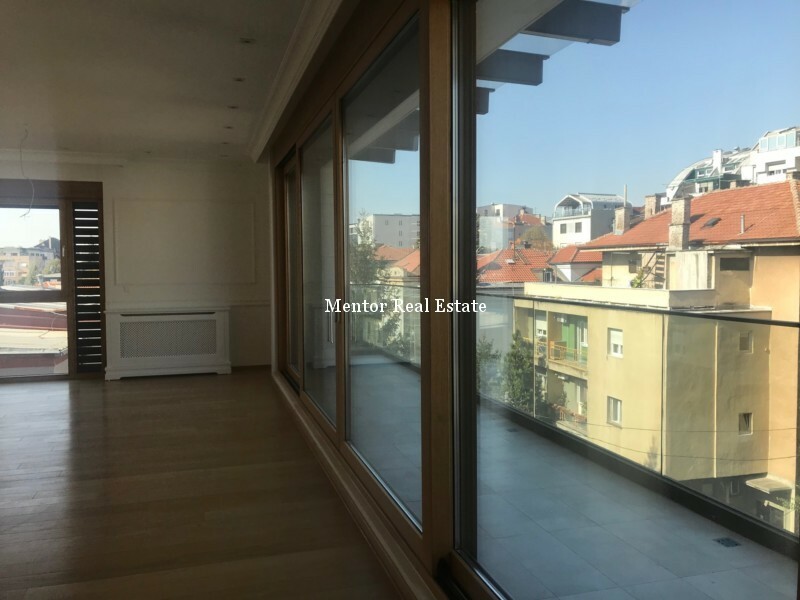 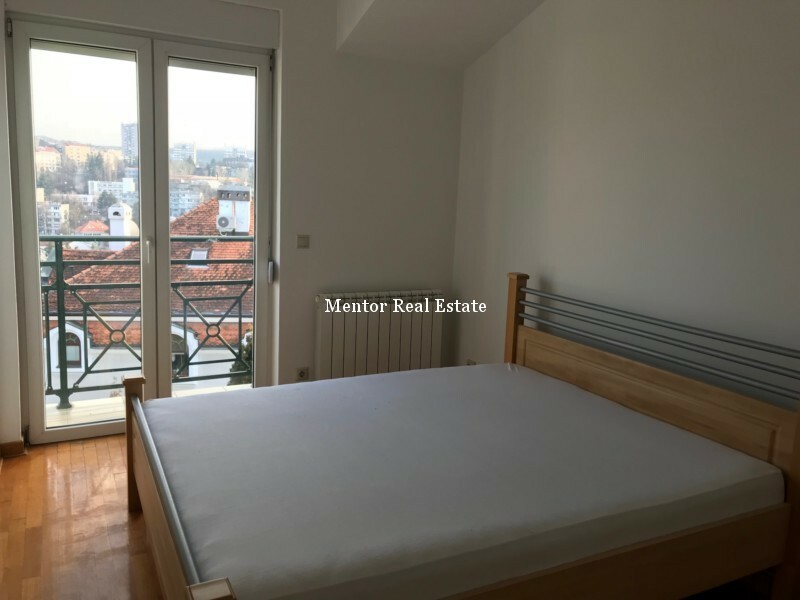 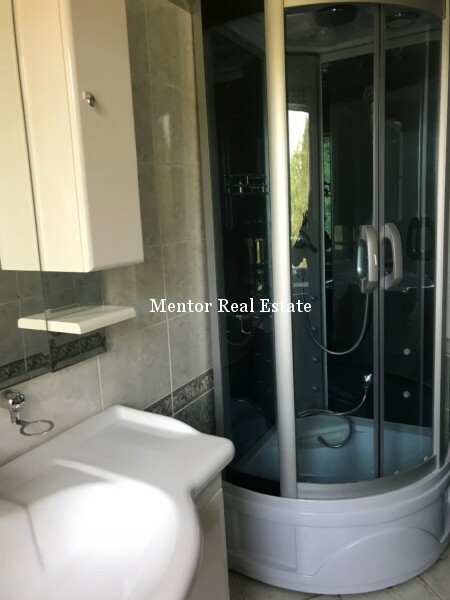 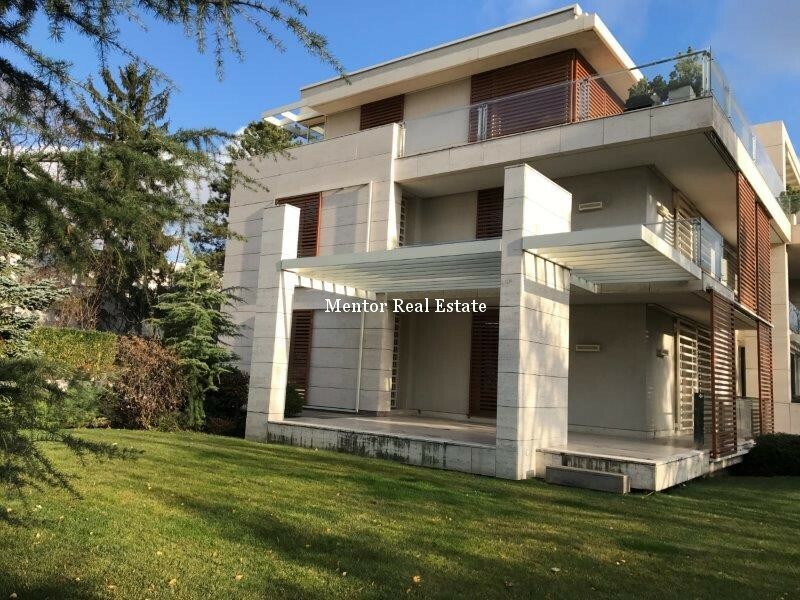 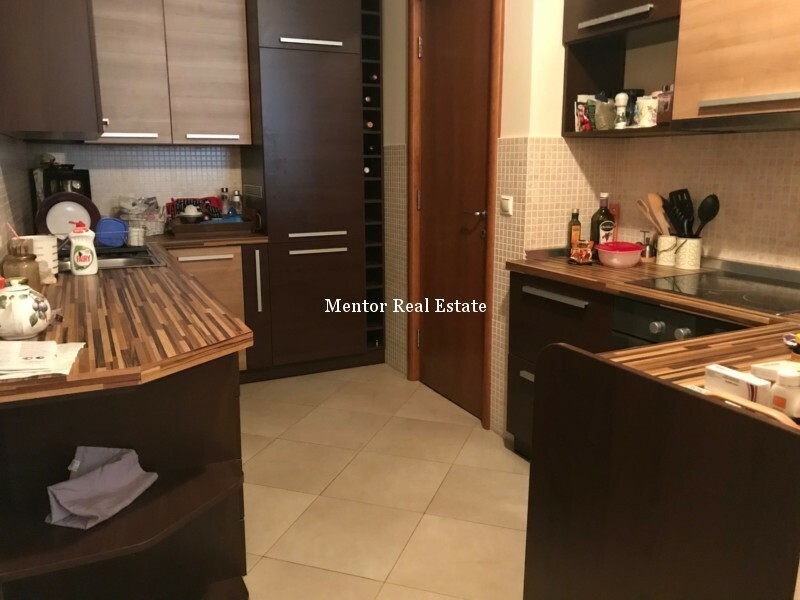 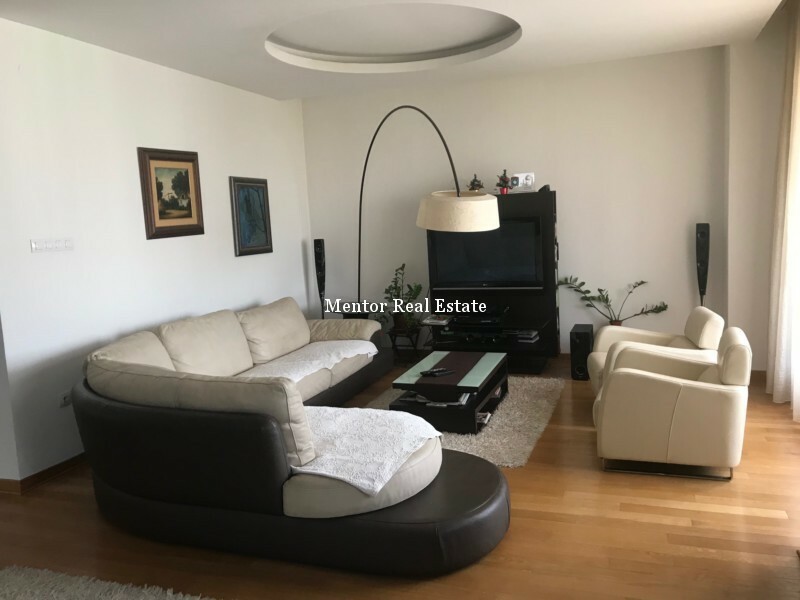 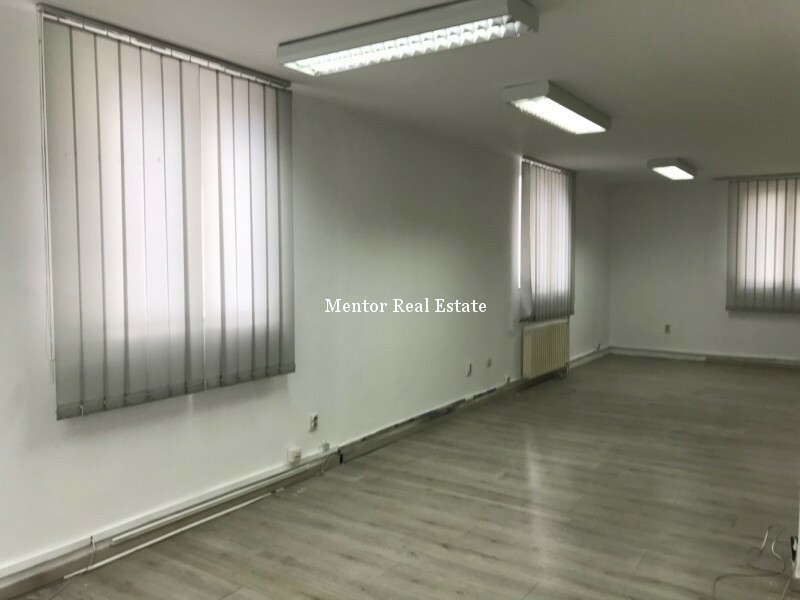 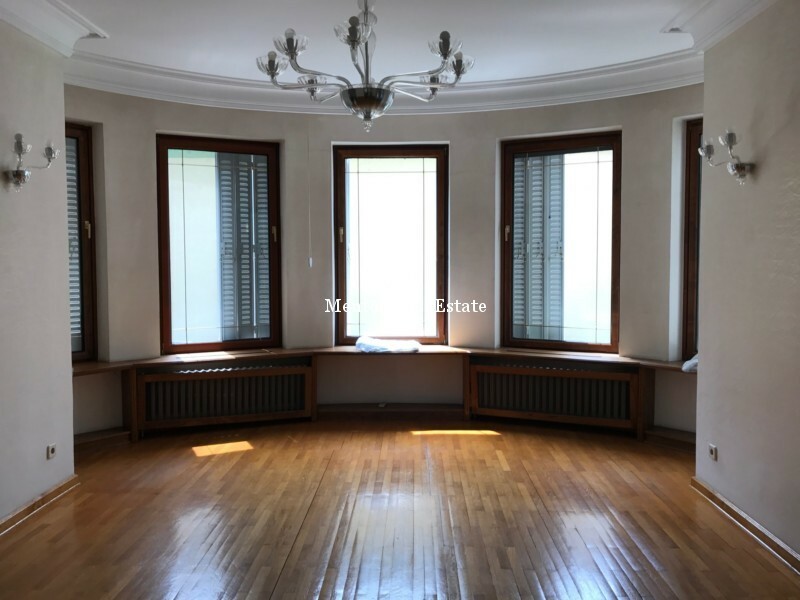 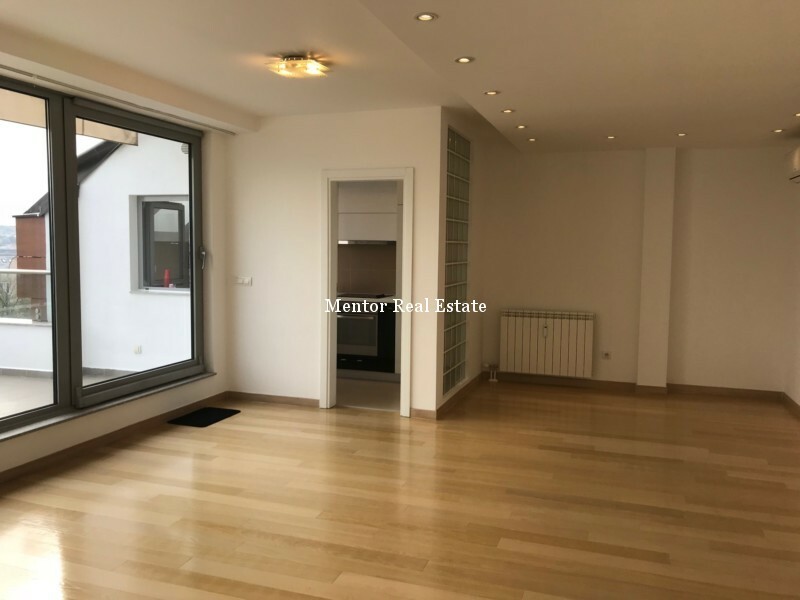 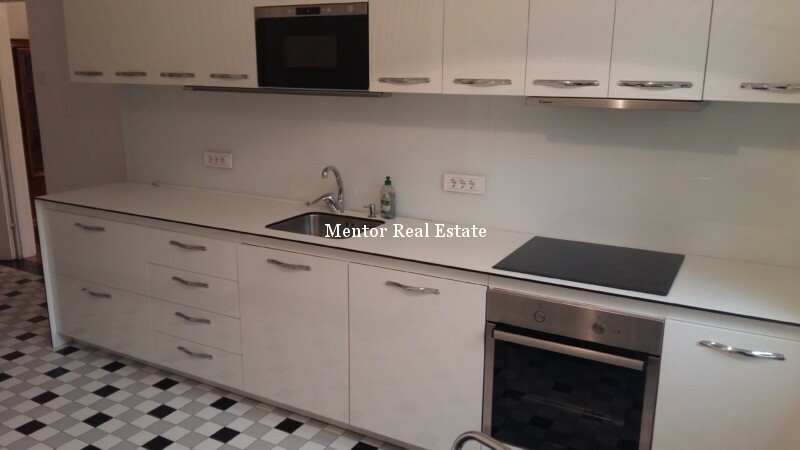 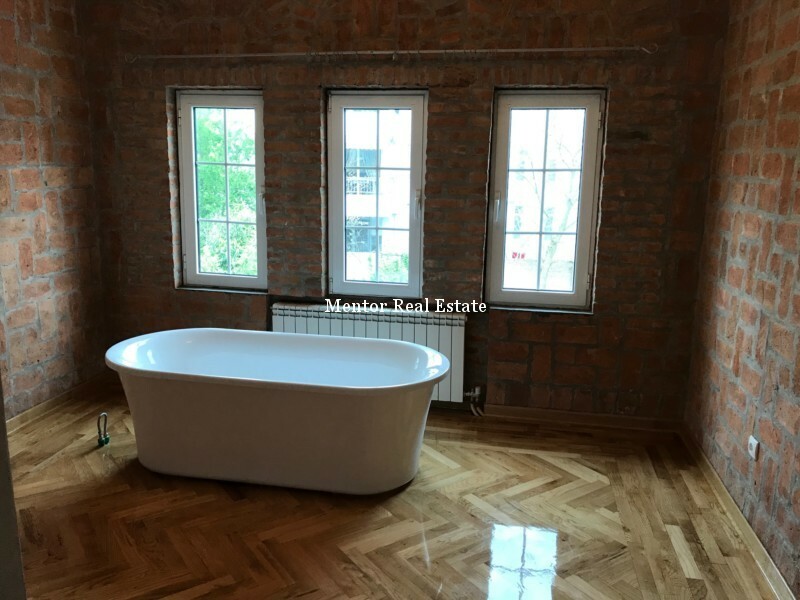 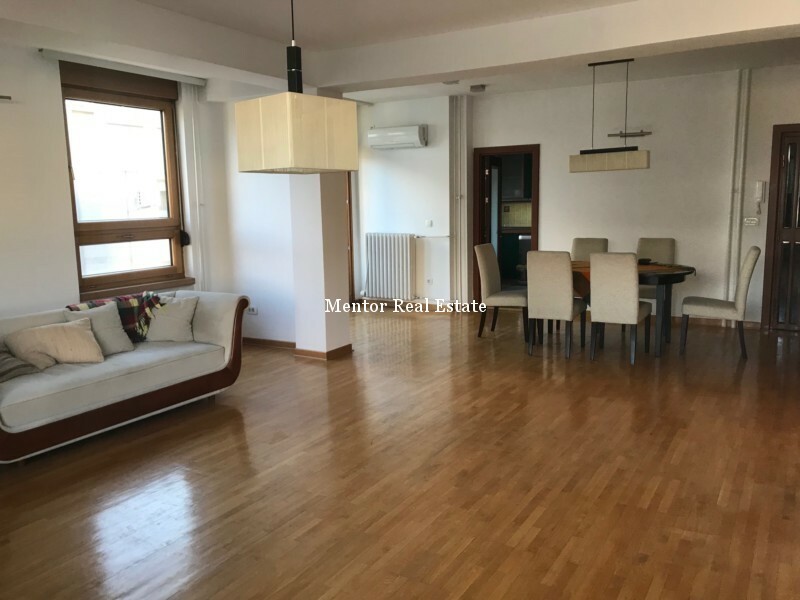 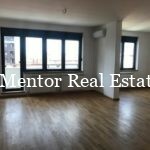 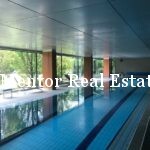 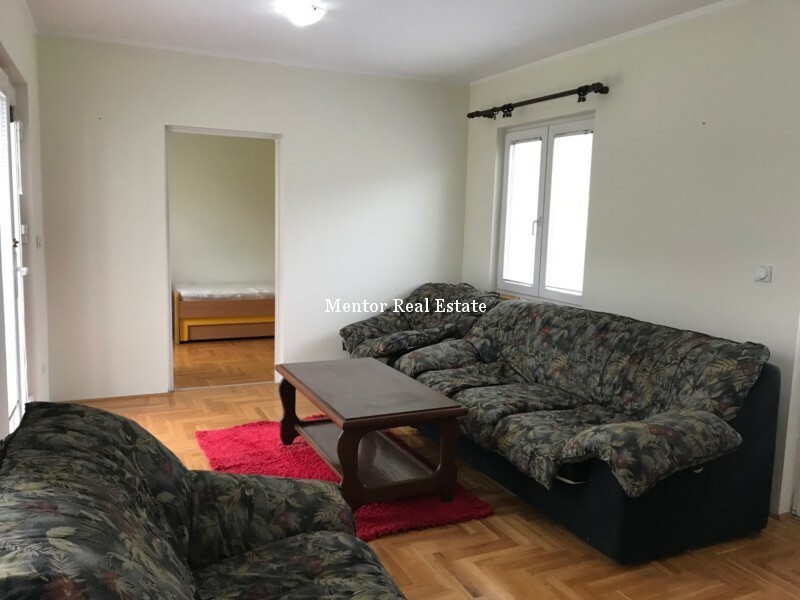 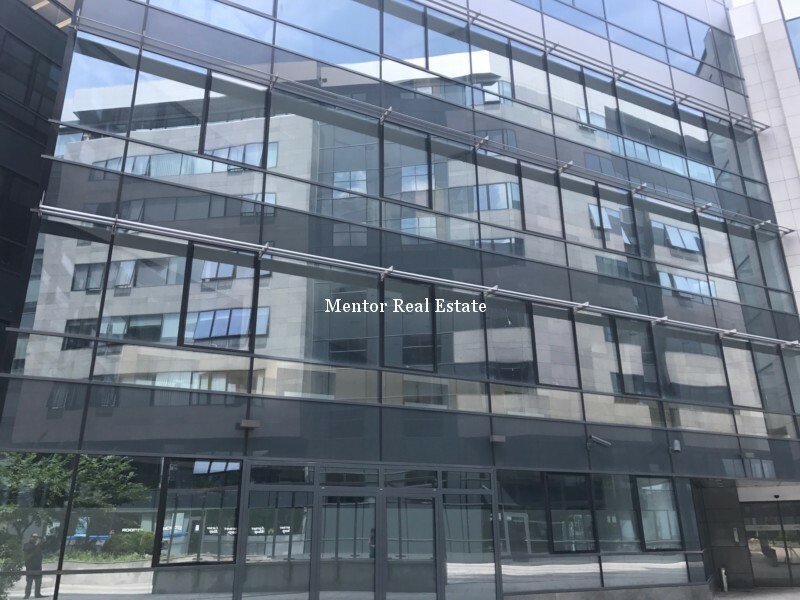 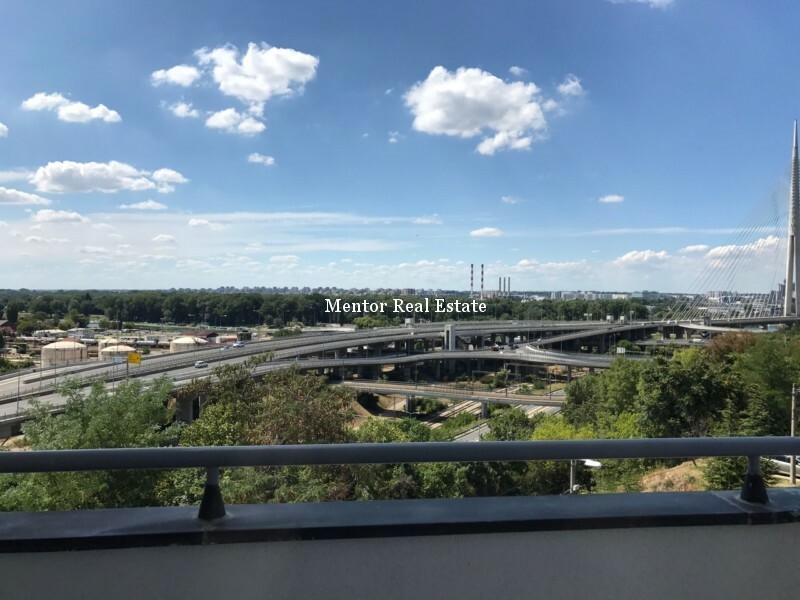 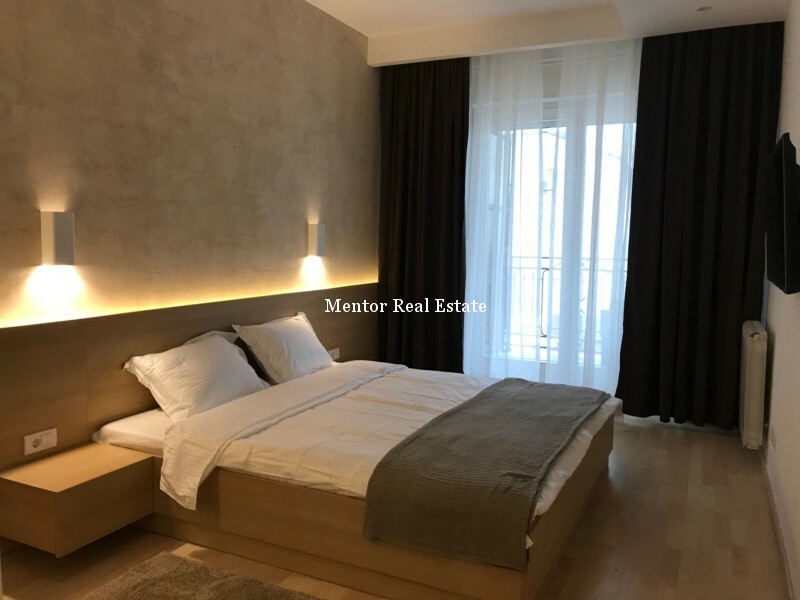 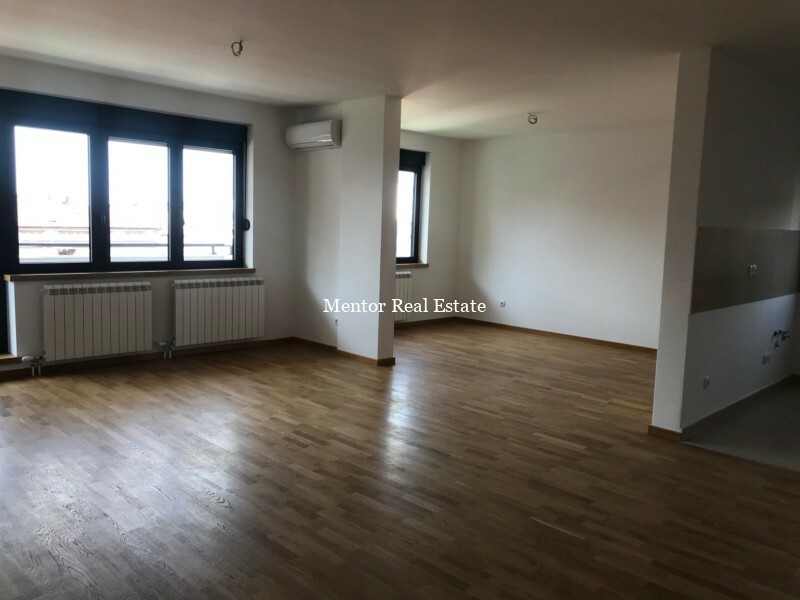 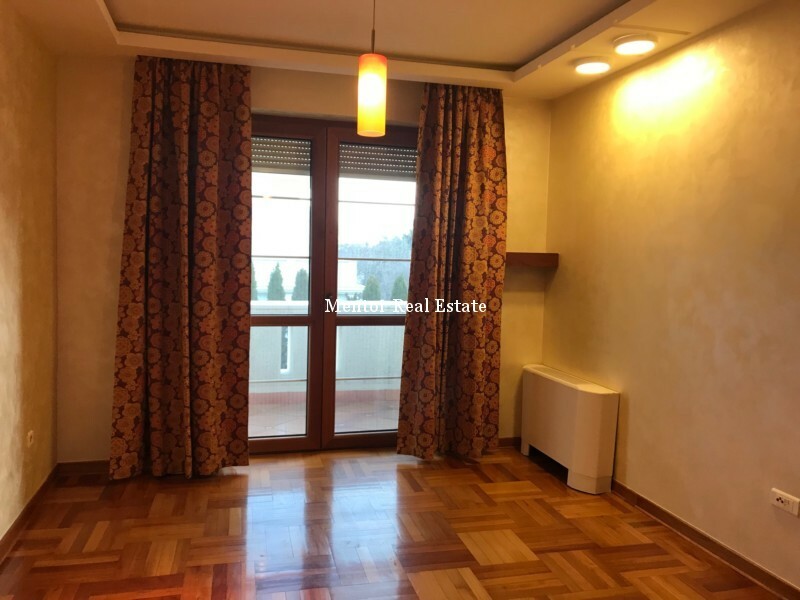 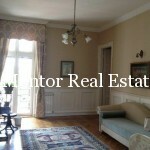 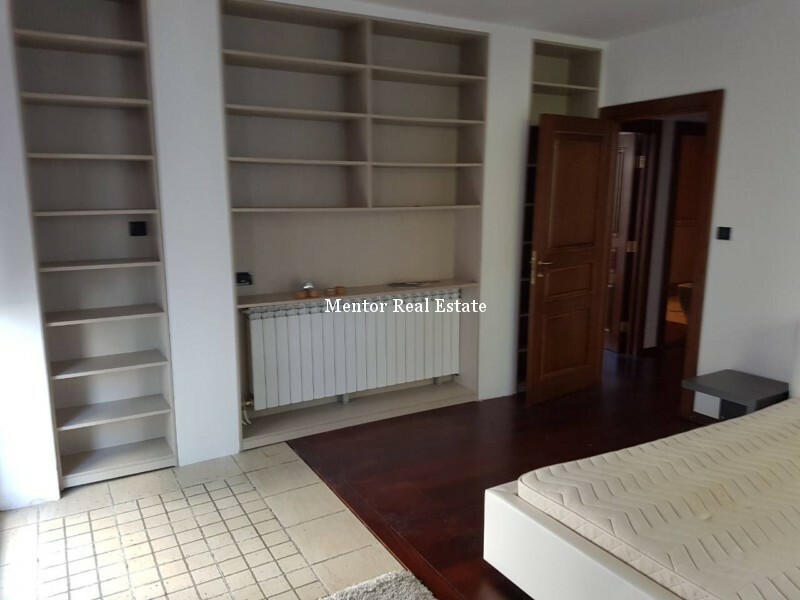 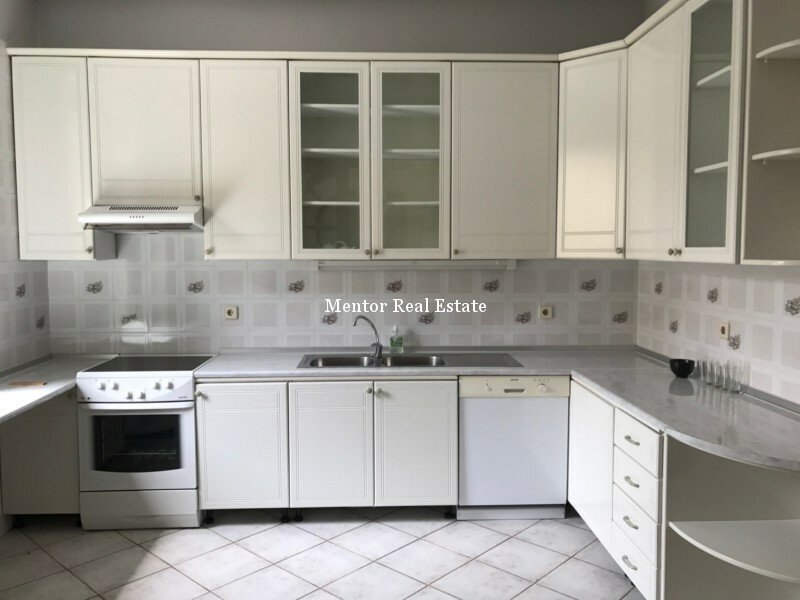 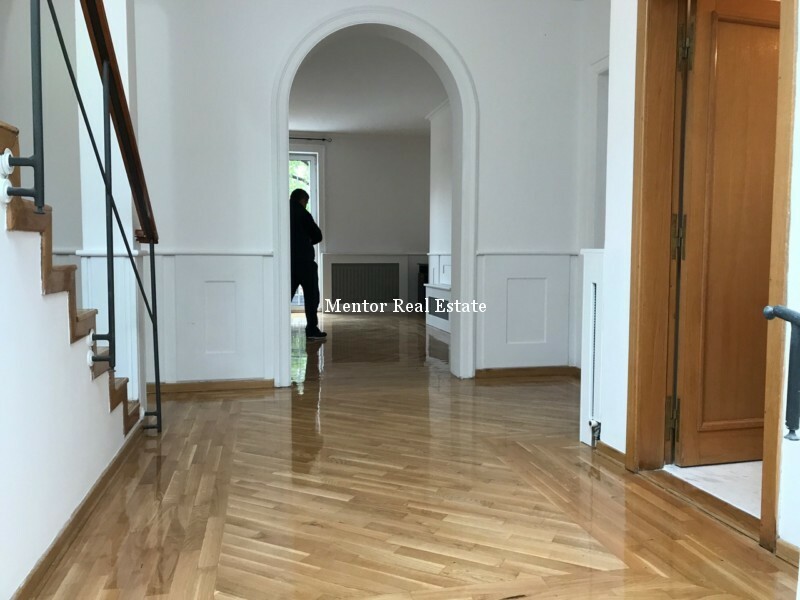 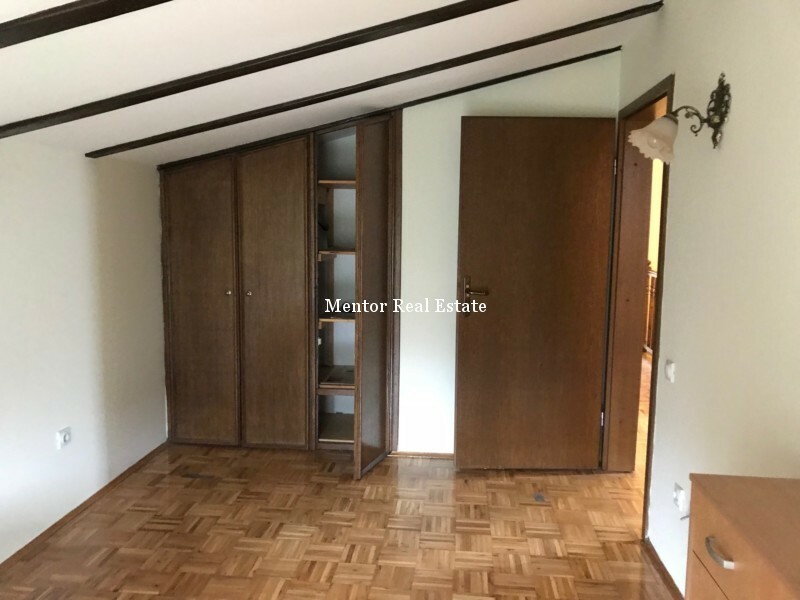 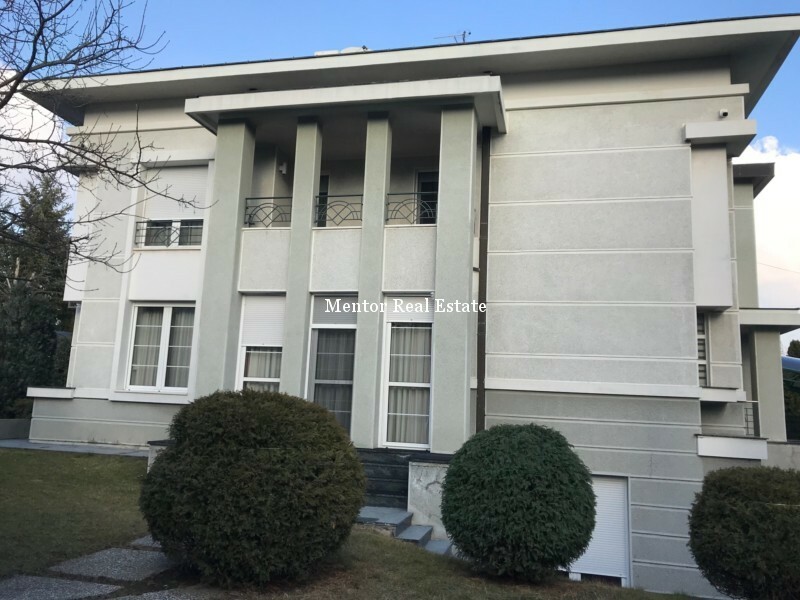 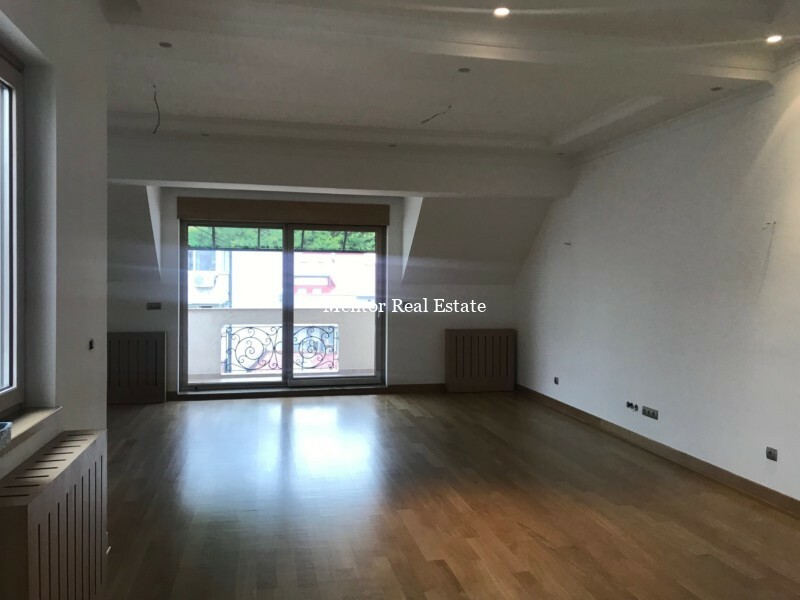 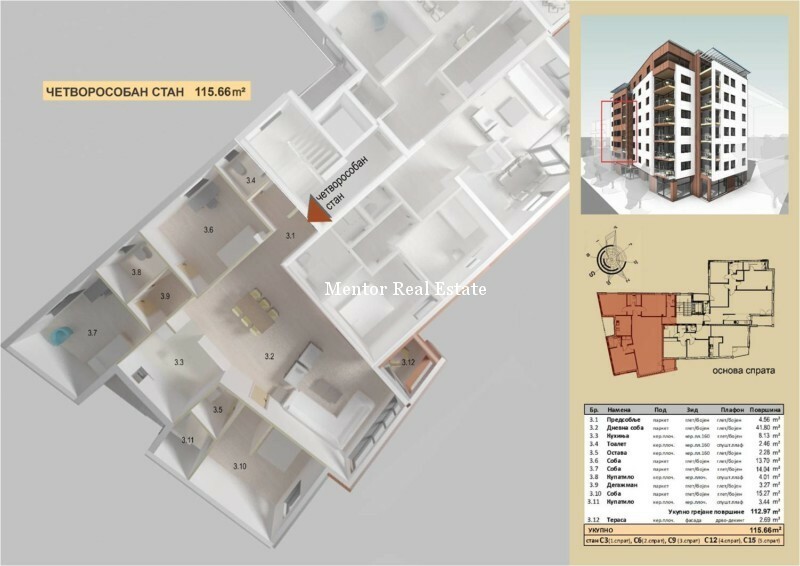 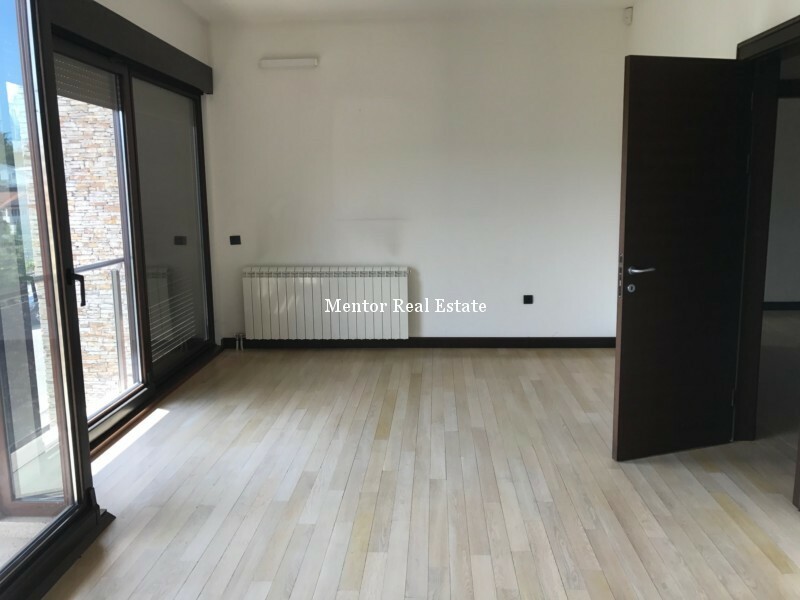 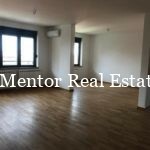 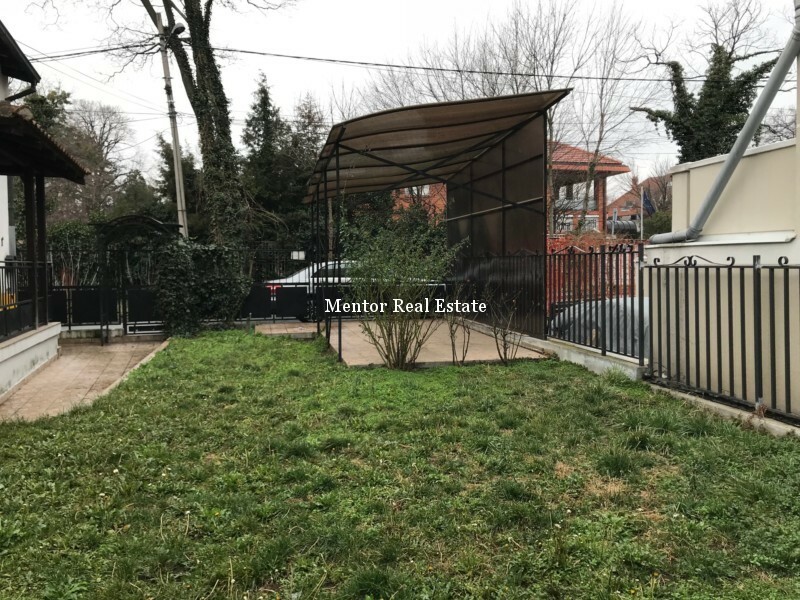 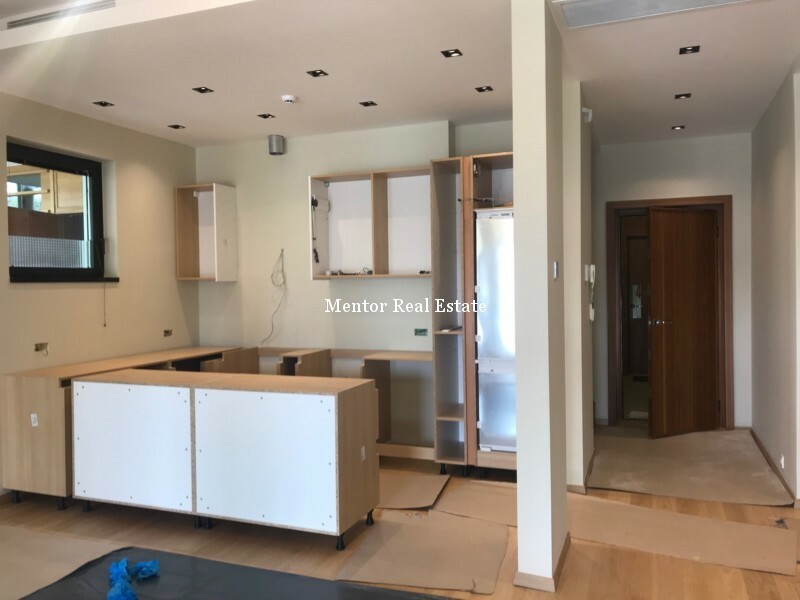 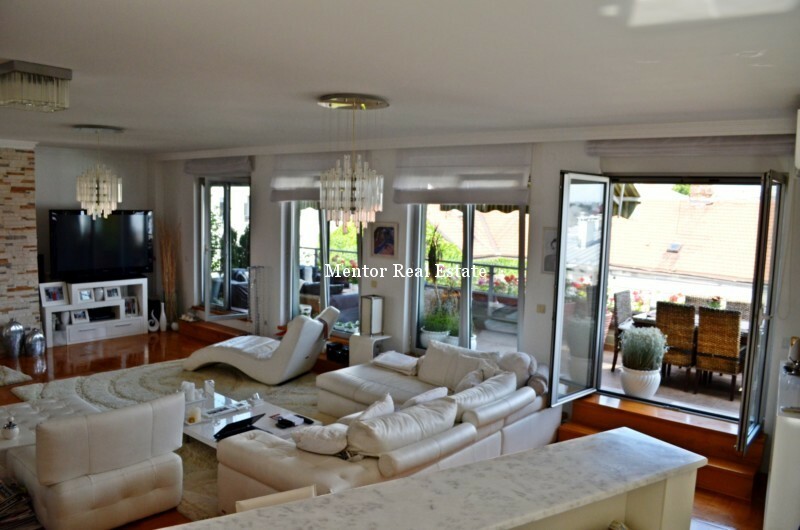 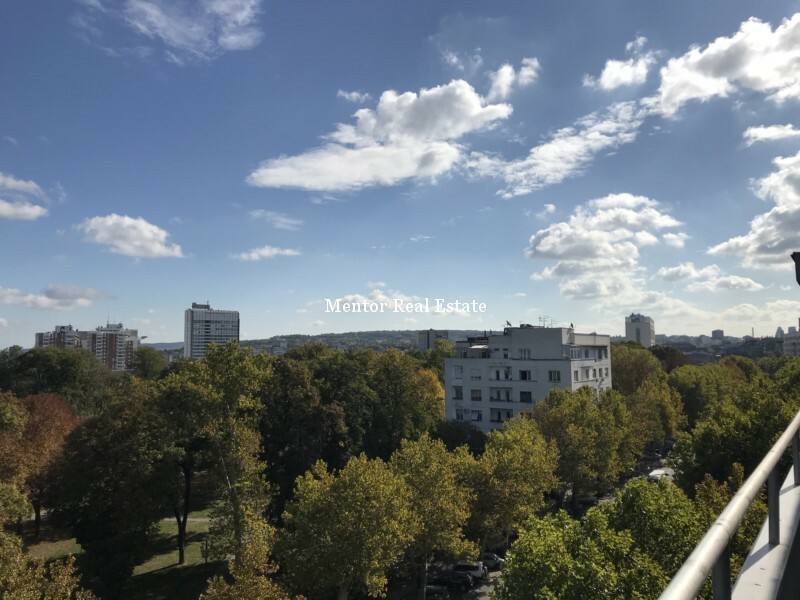 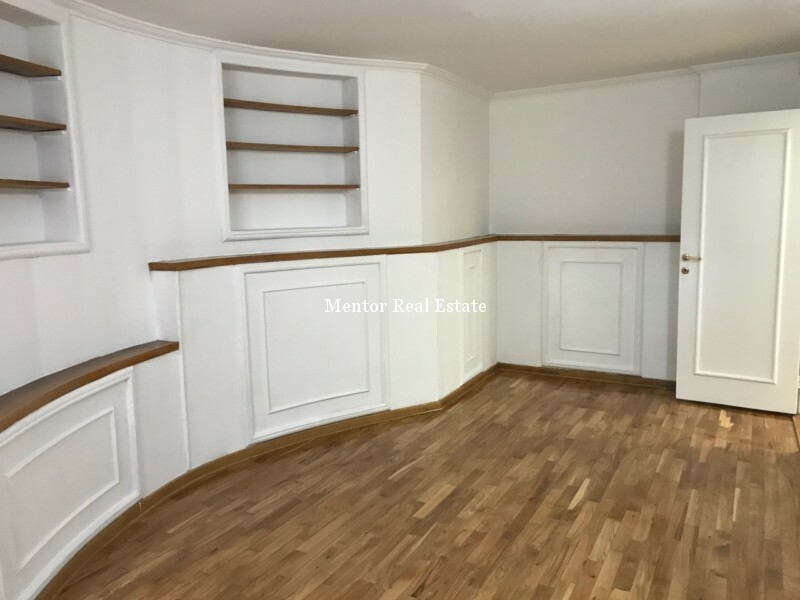 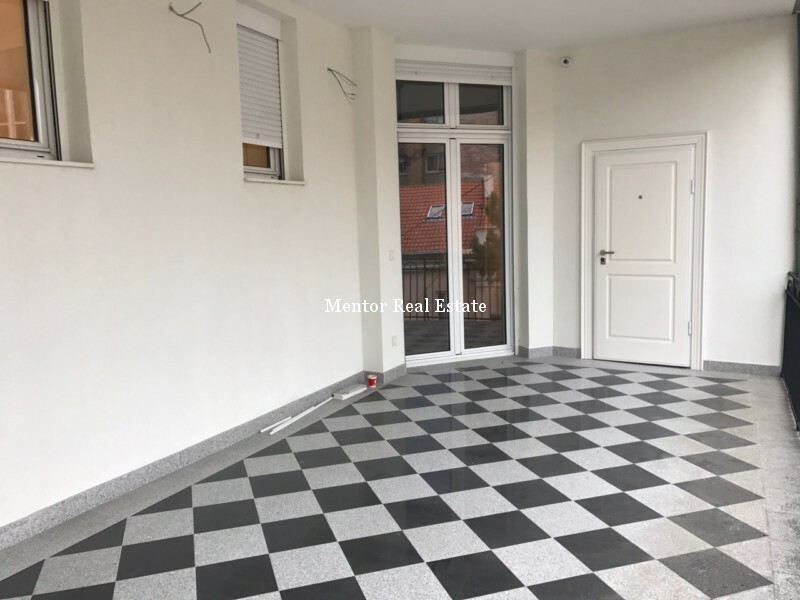 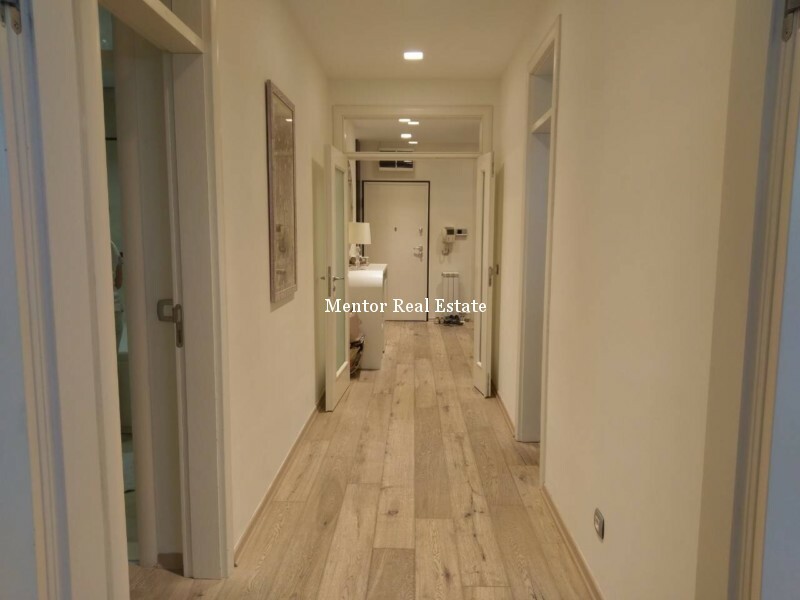 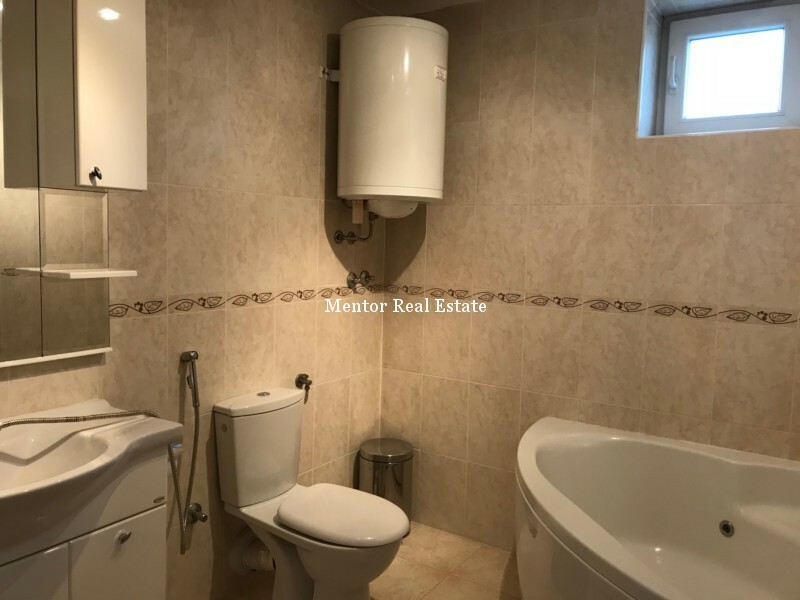 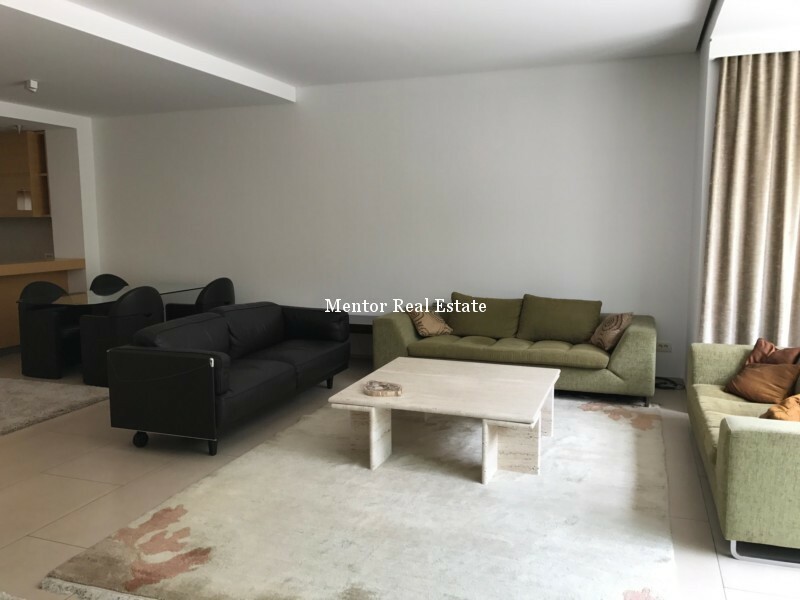 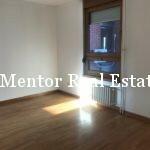 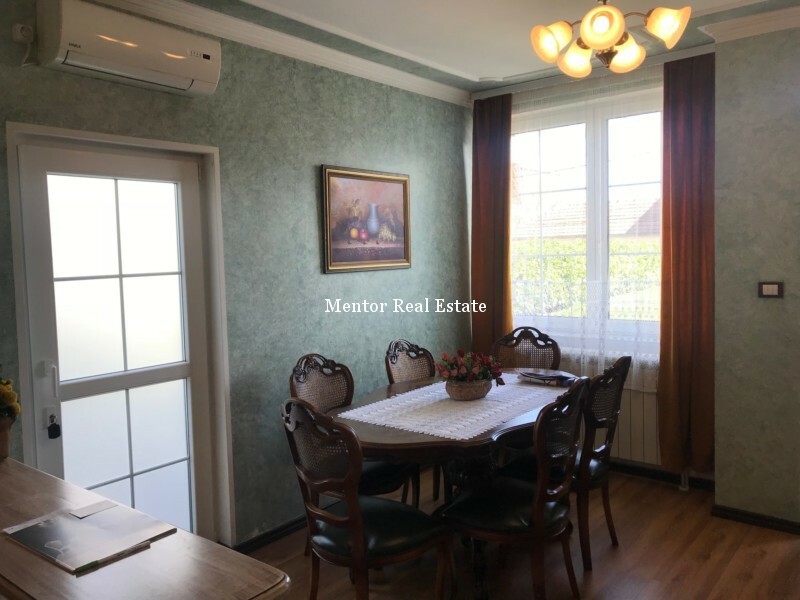 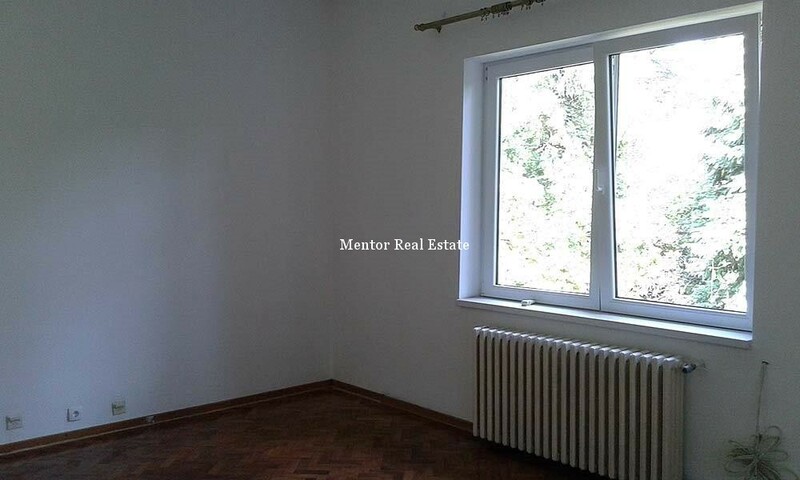 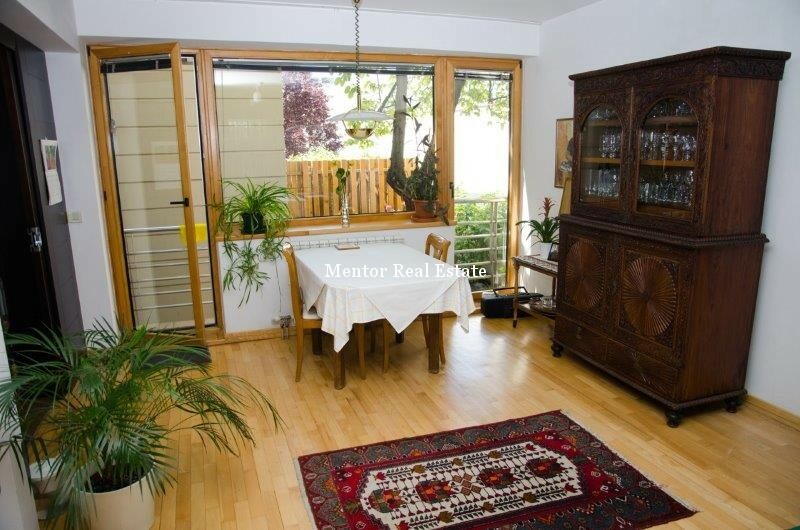 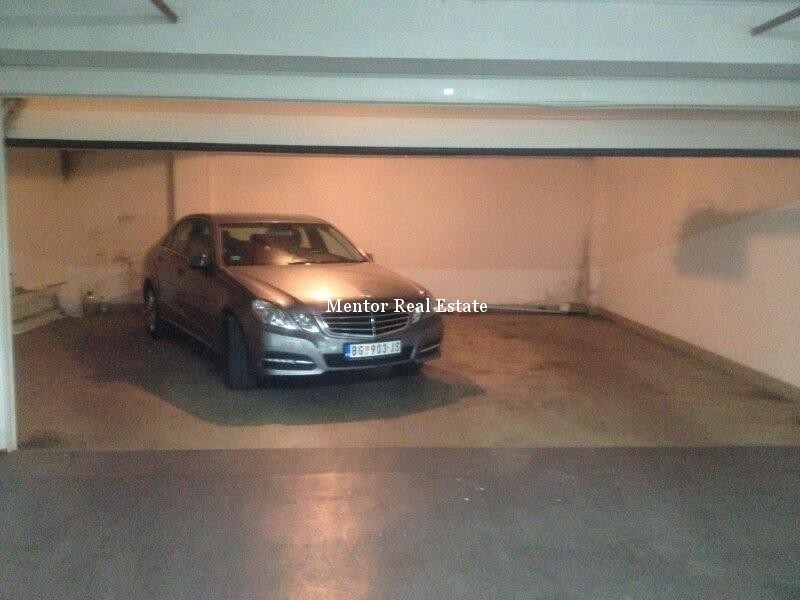 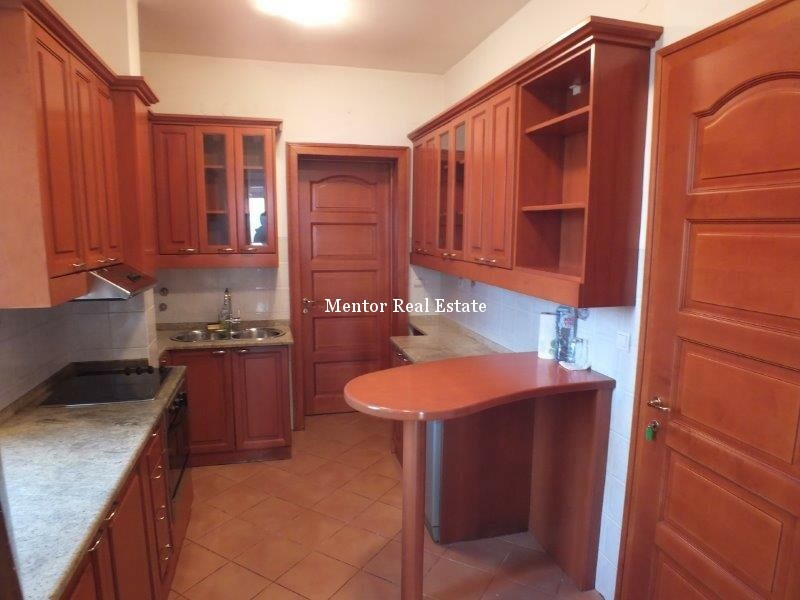 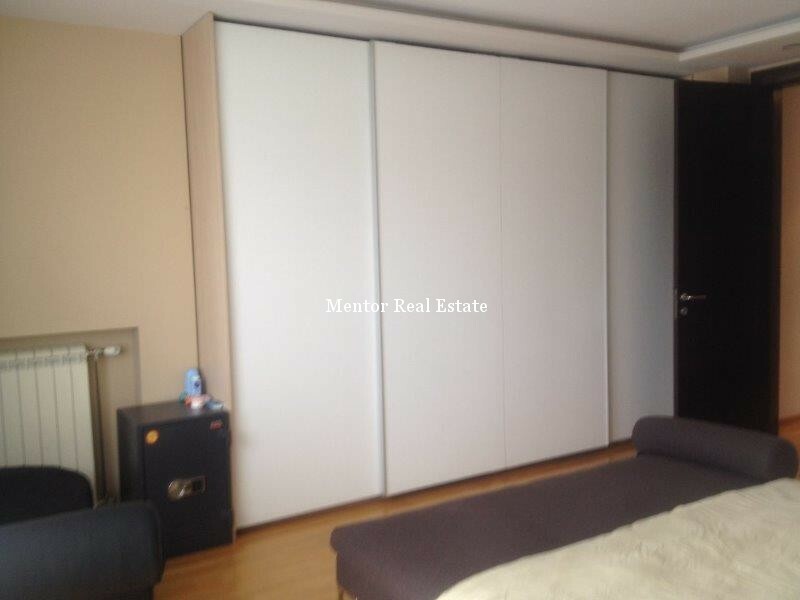 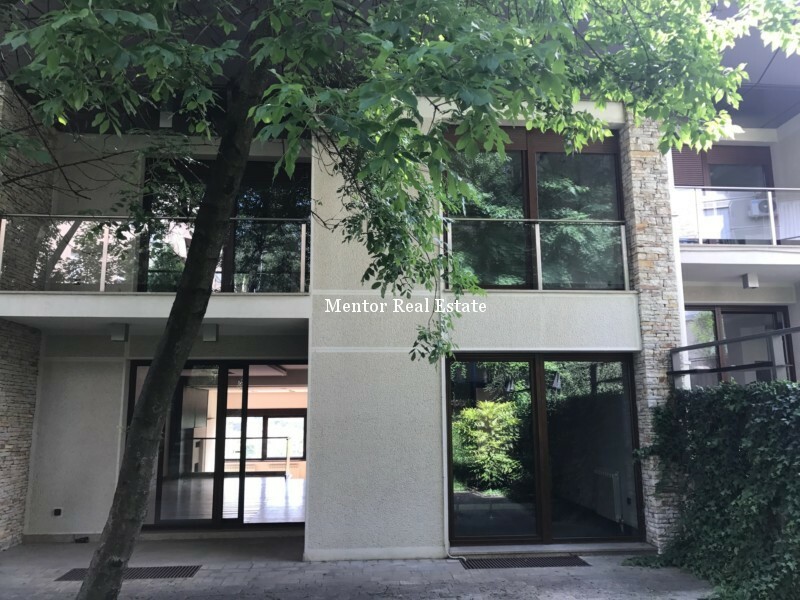 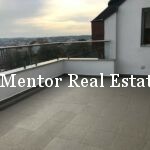 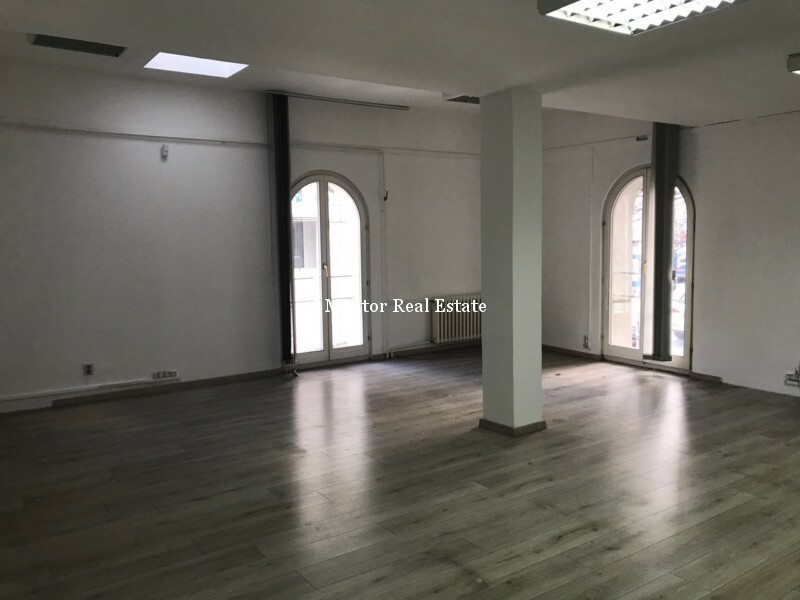 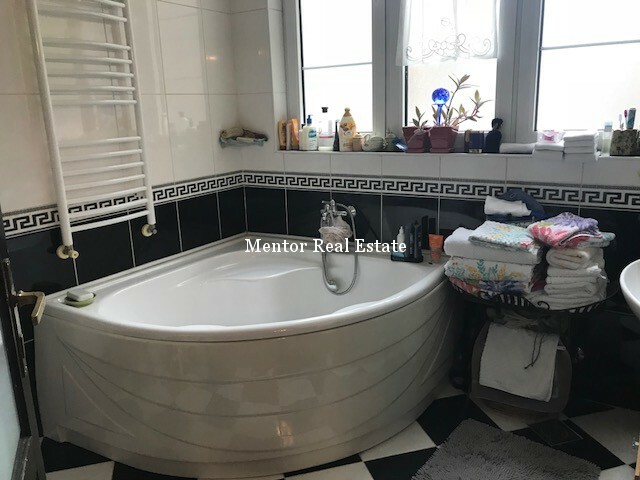 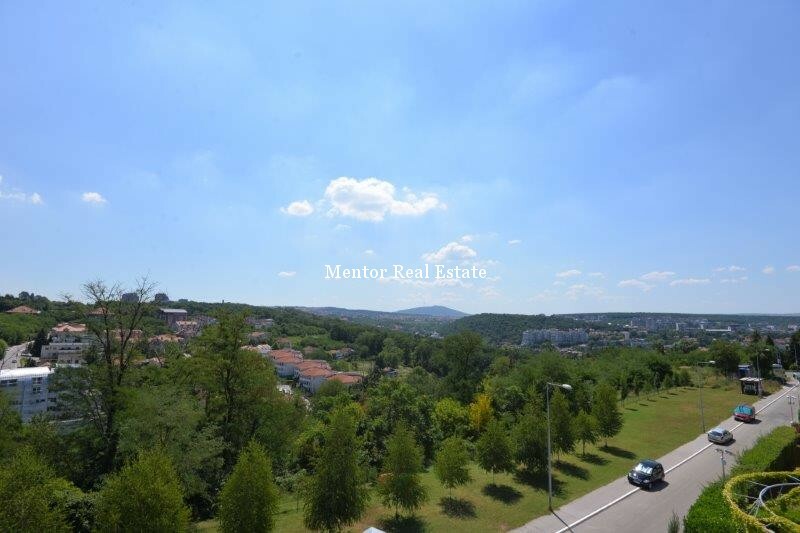 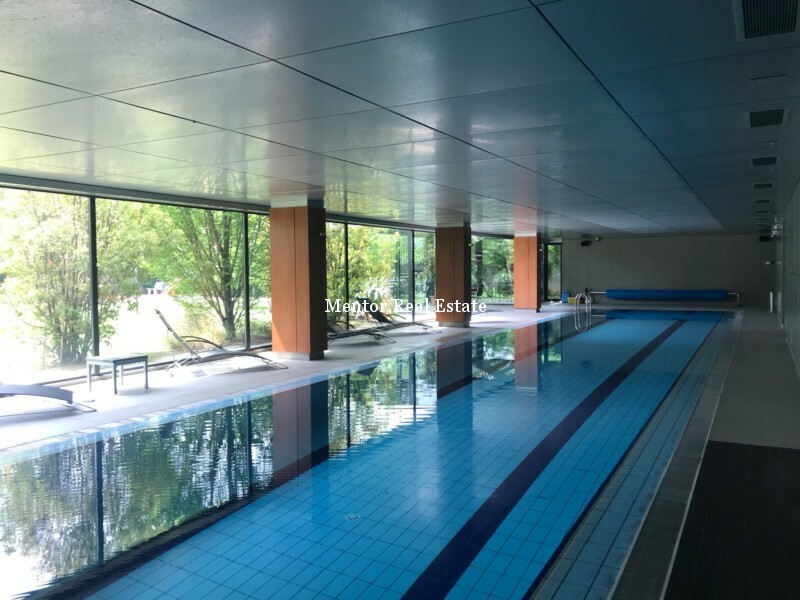 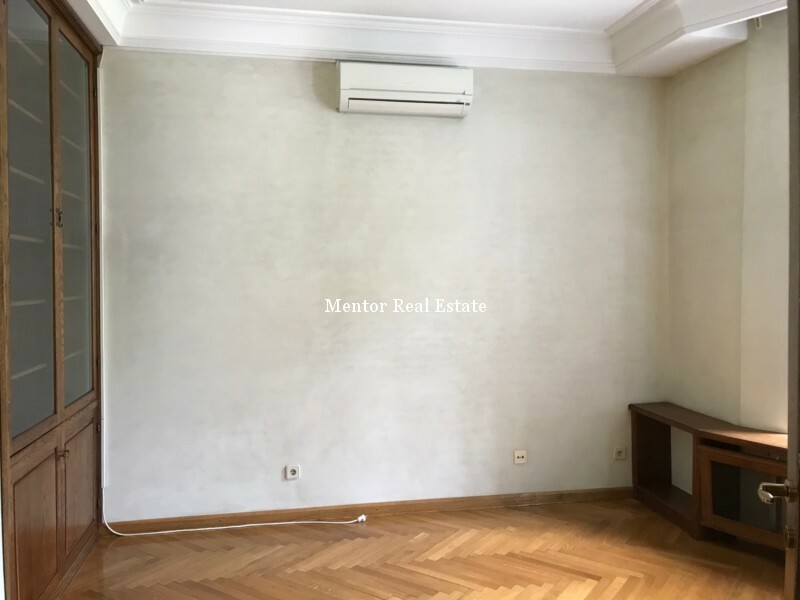 Vračar, Crveni krst, new modern apartments for sale, 67, 102, 115, 136sqm, central heating and cooling from walls and floors, garage. 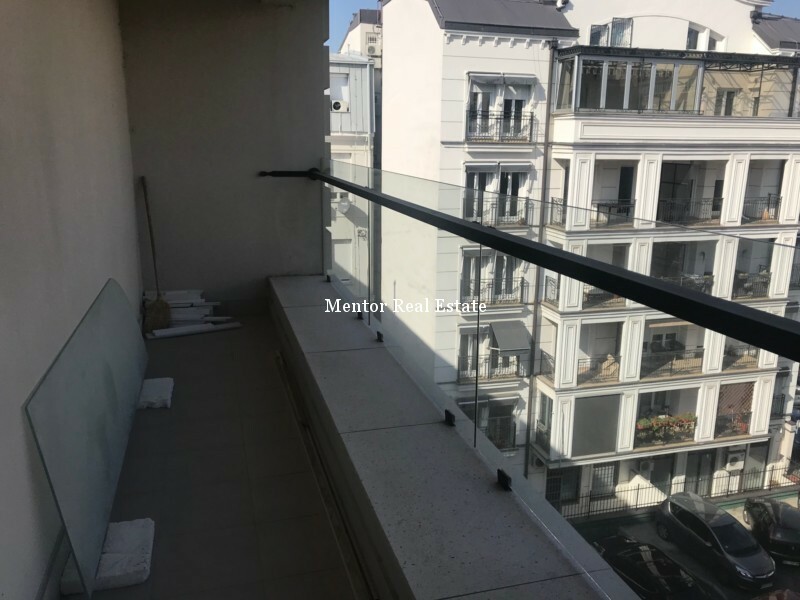 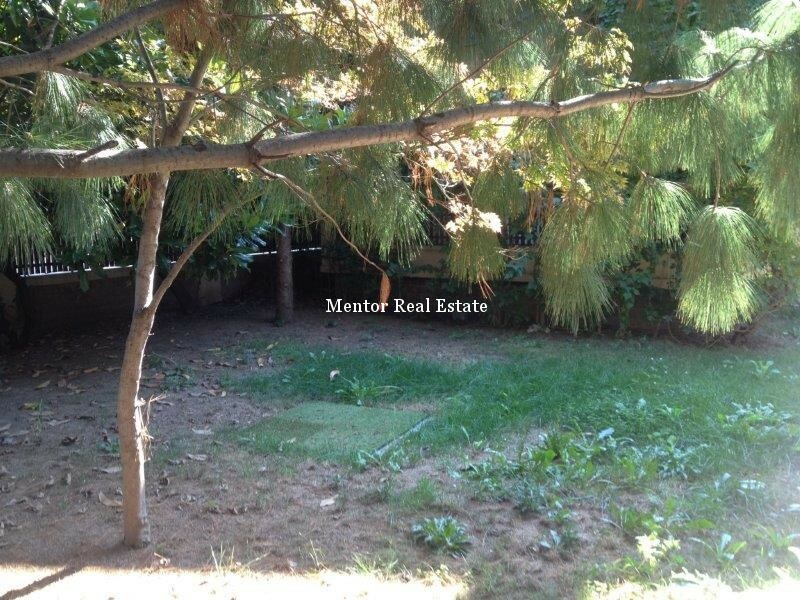 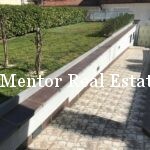 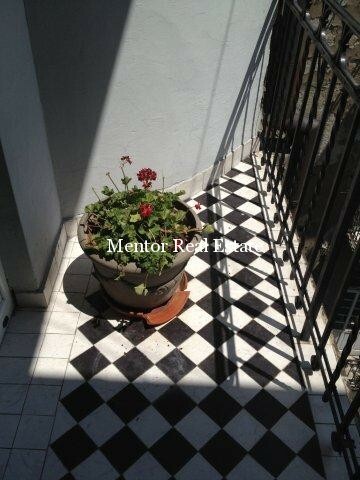 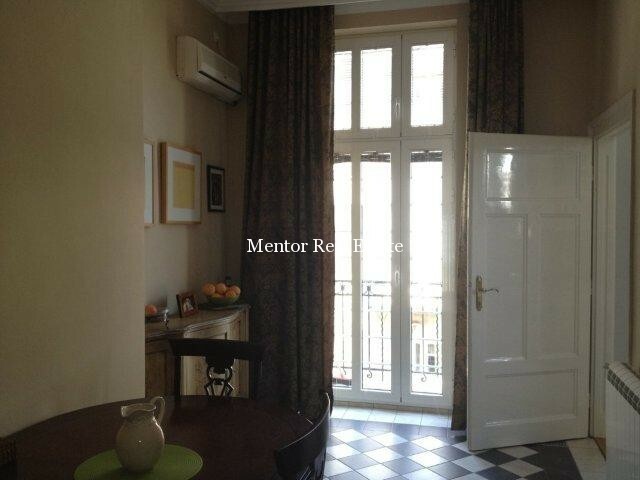 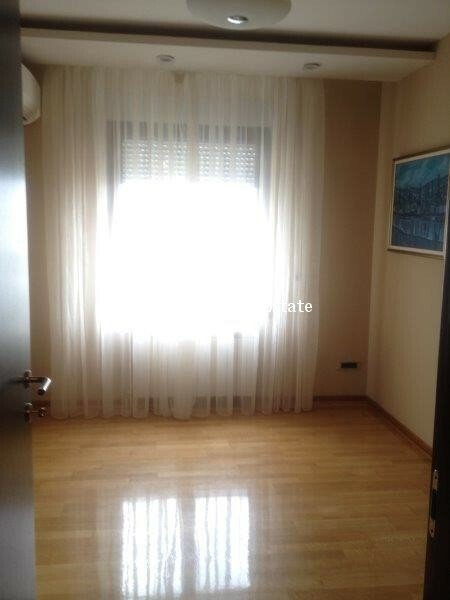 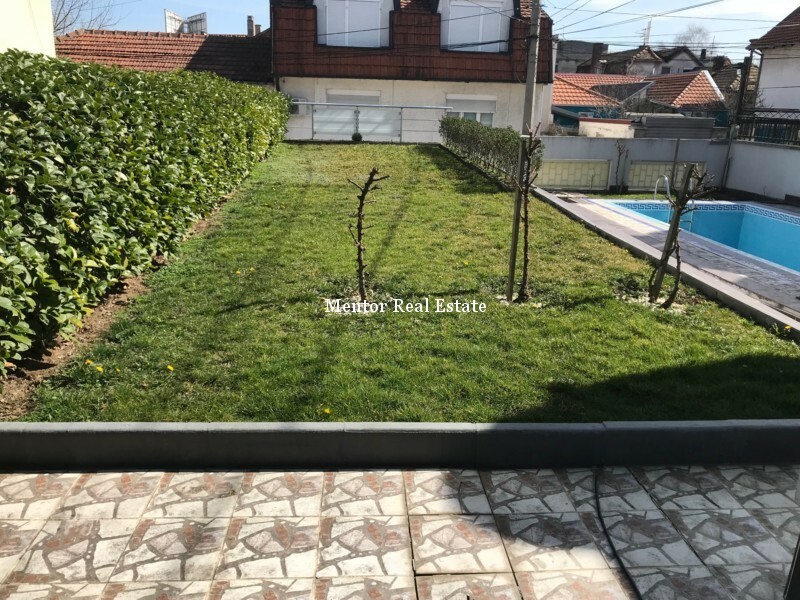 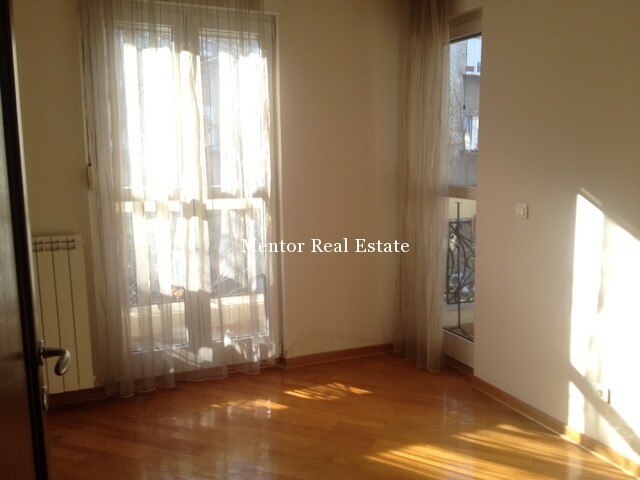 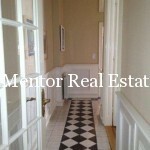 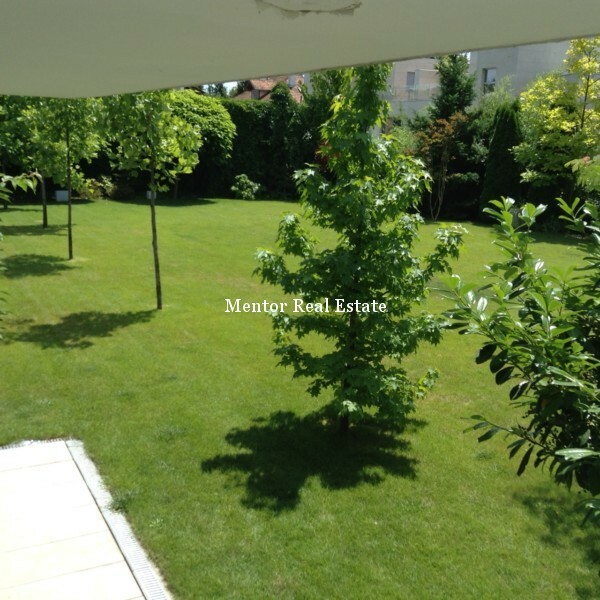 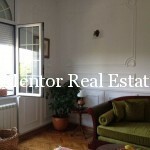 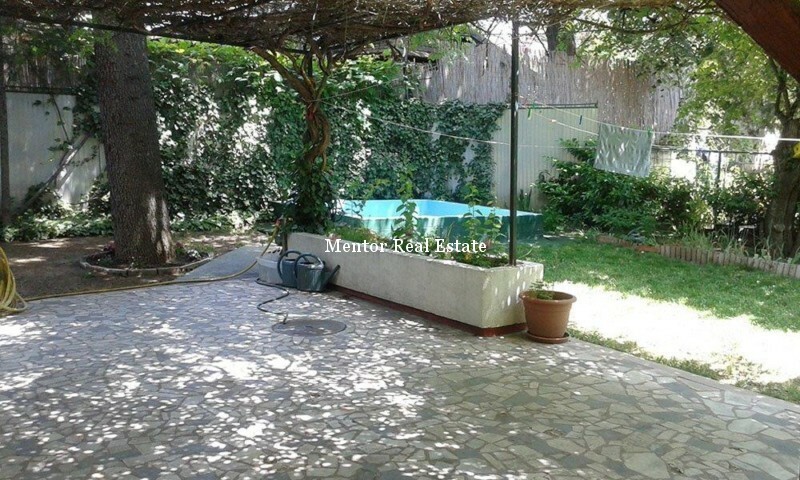 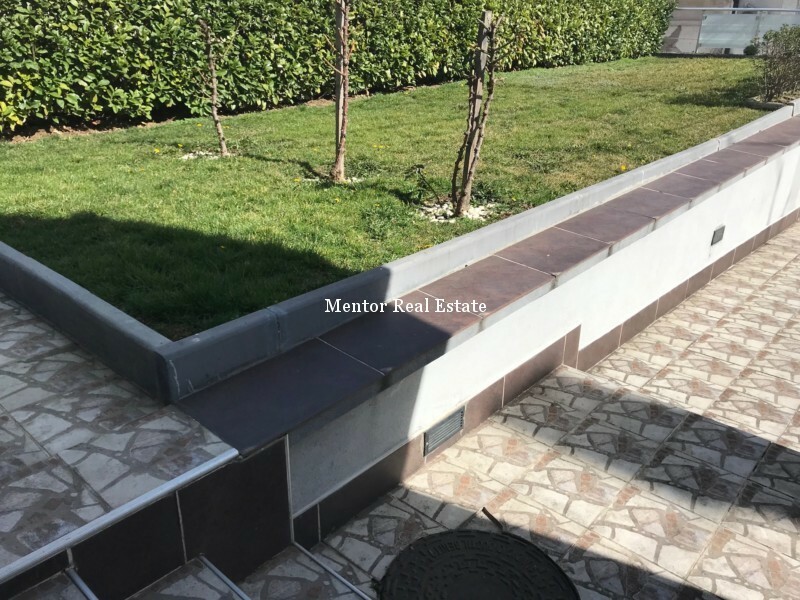 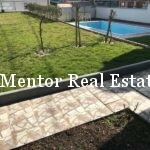 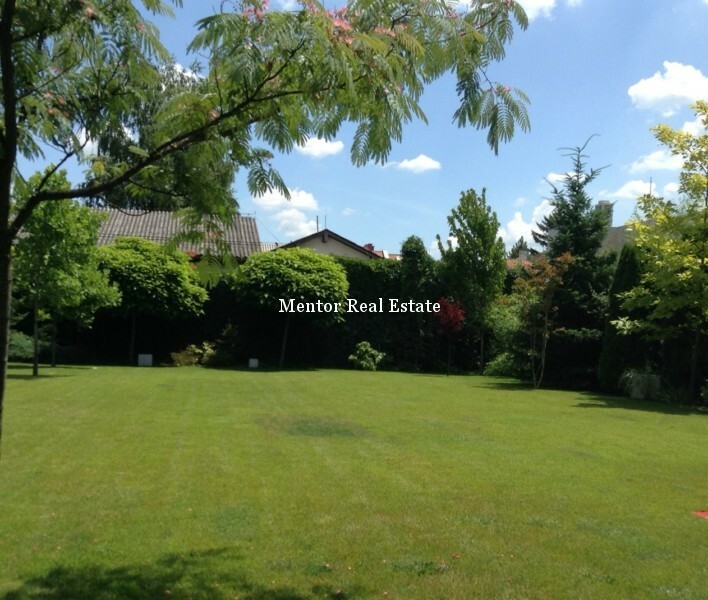 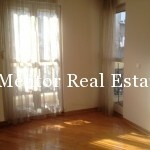 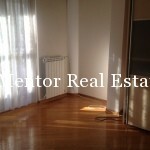 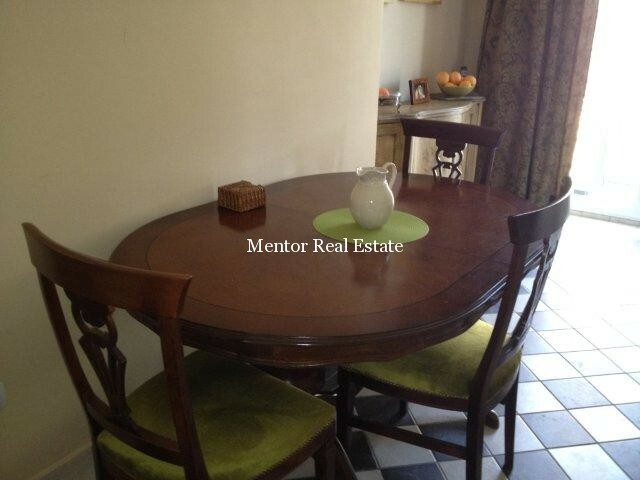 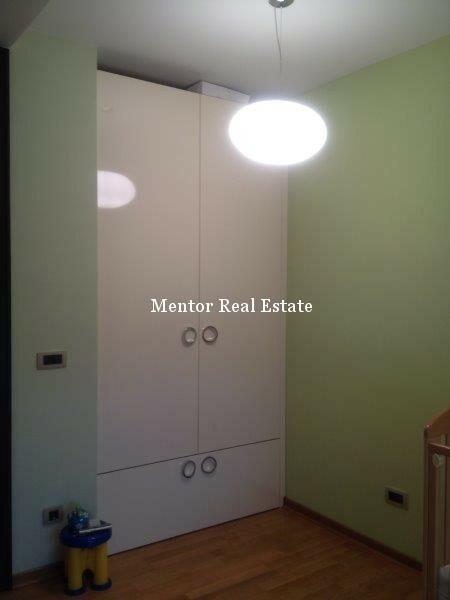 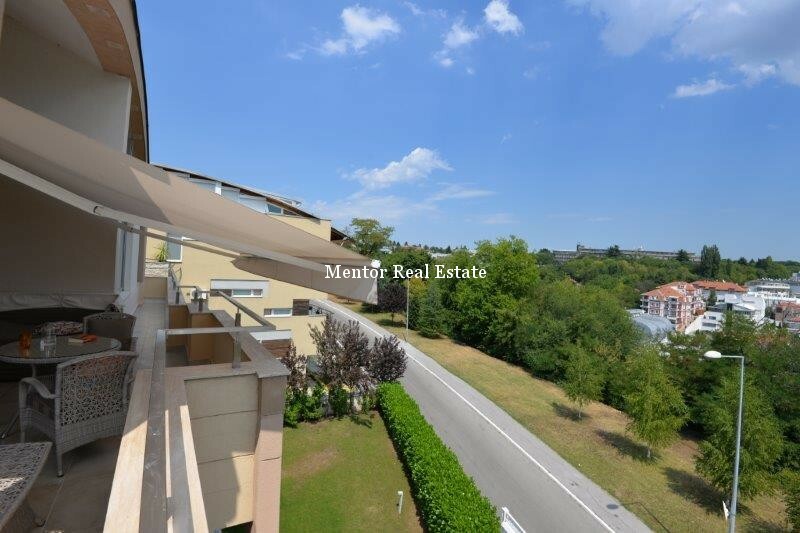 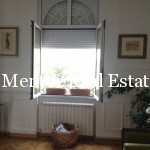 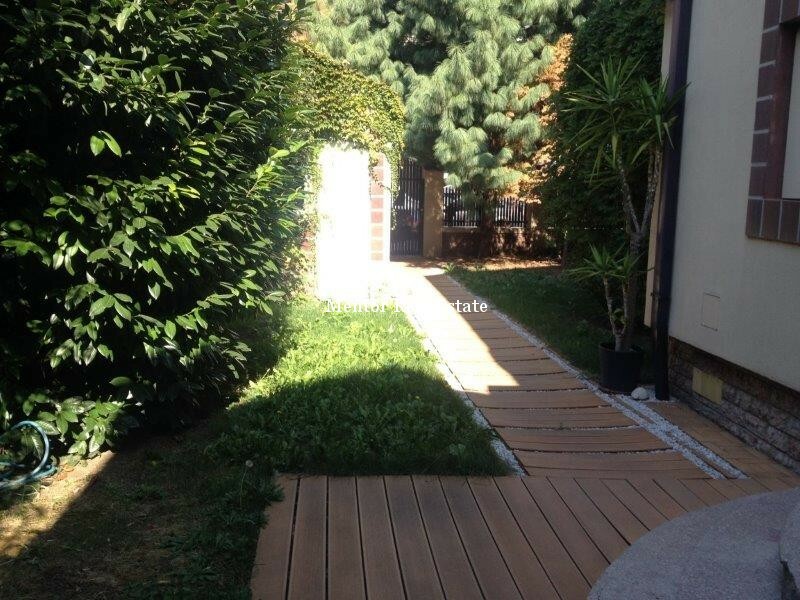 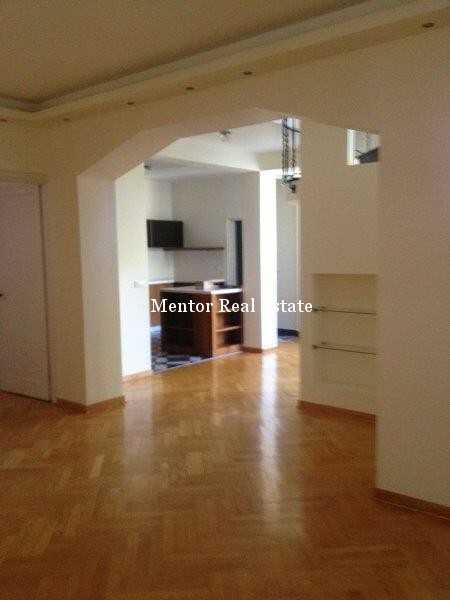 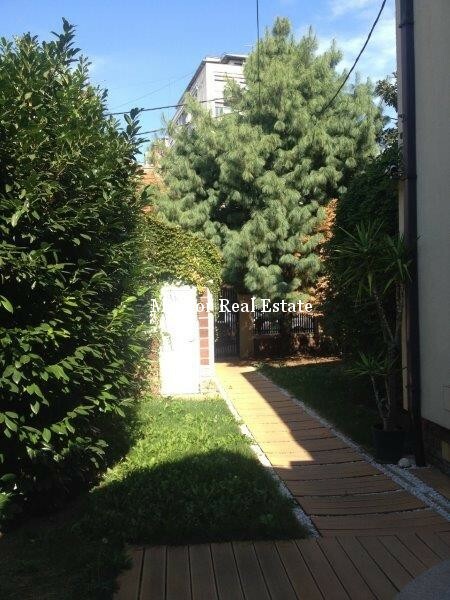 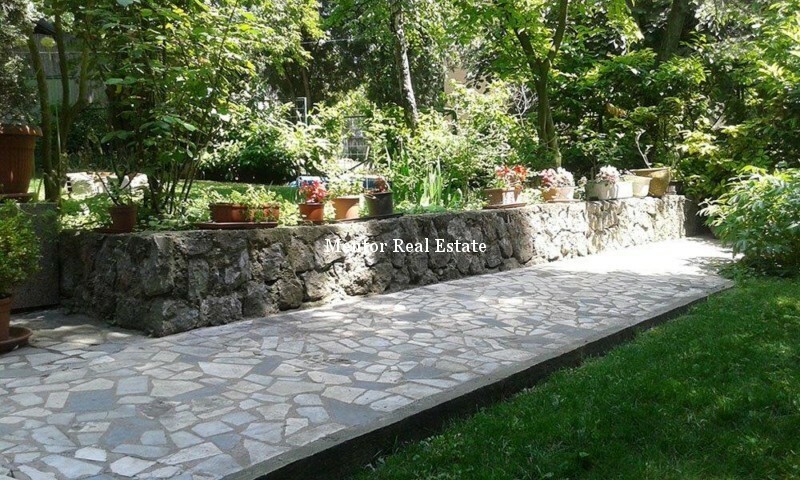 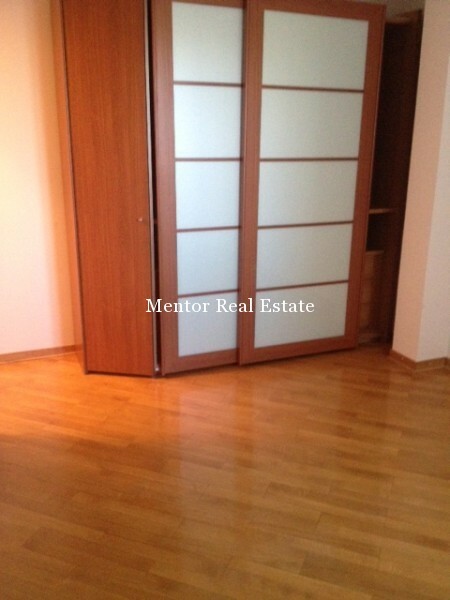 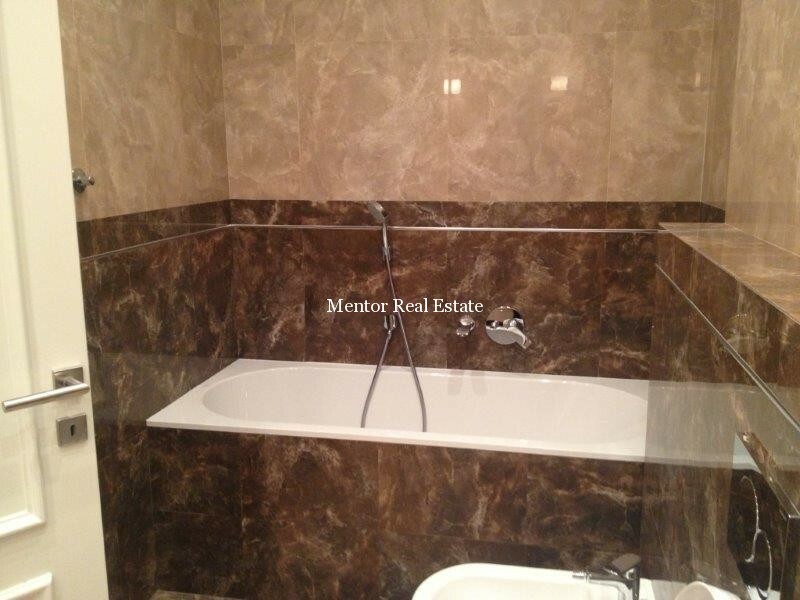 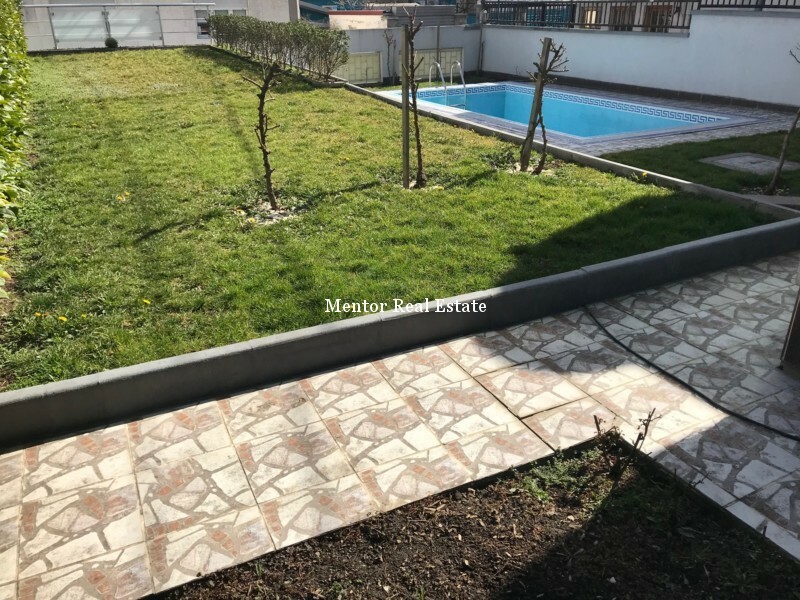 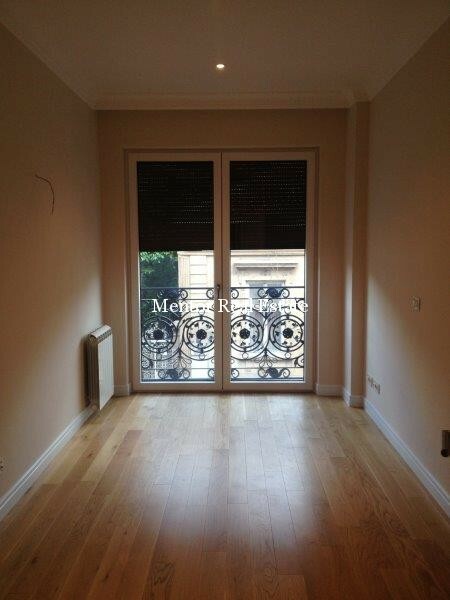 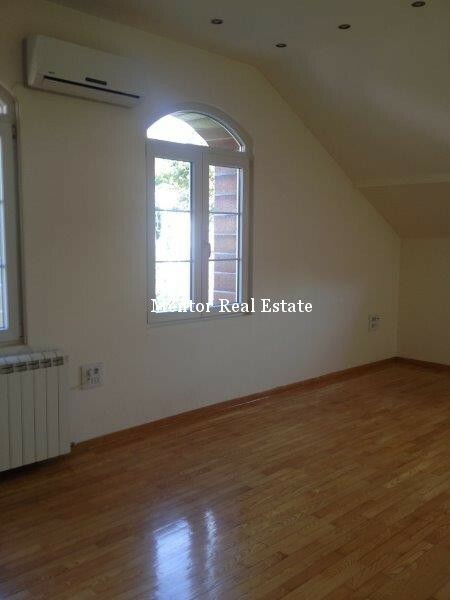 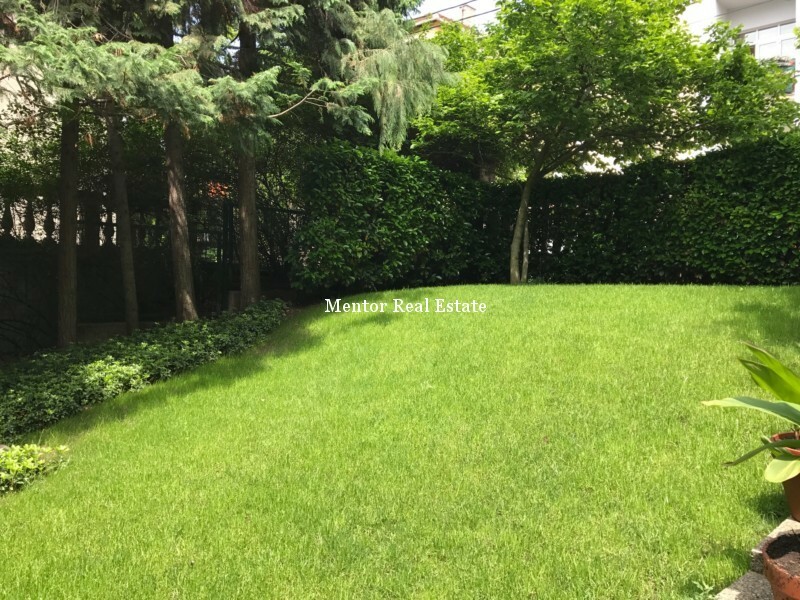 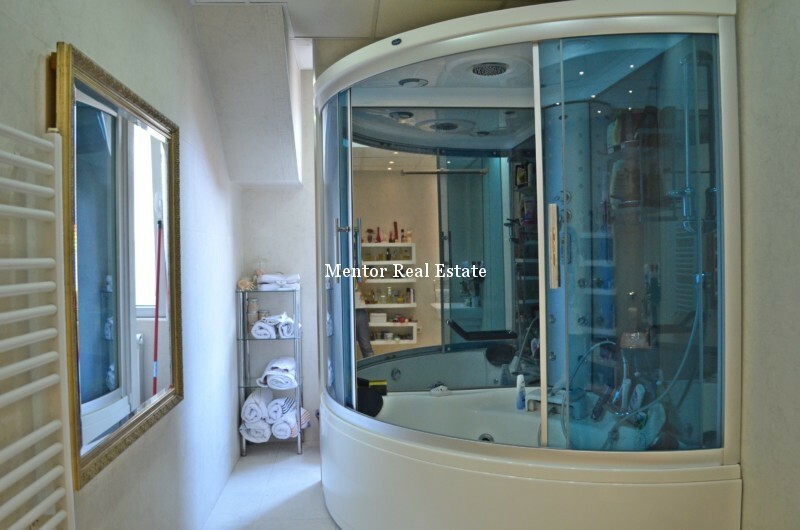 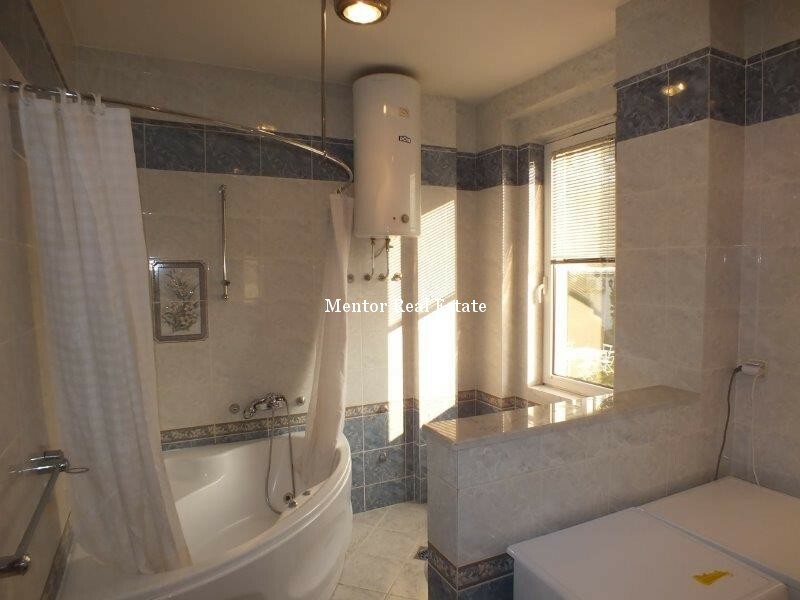 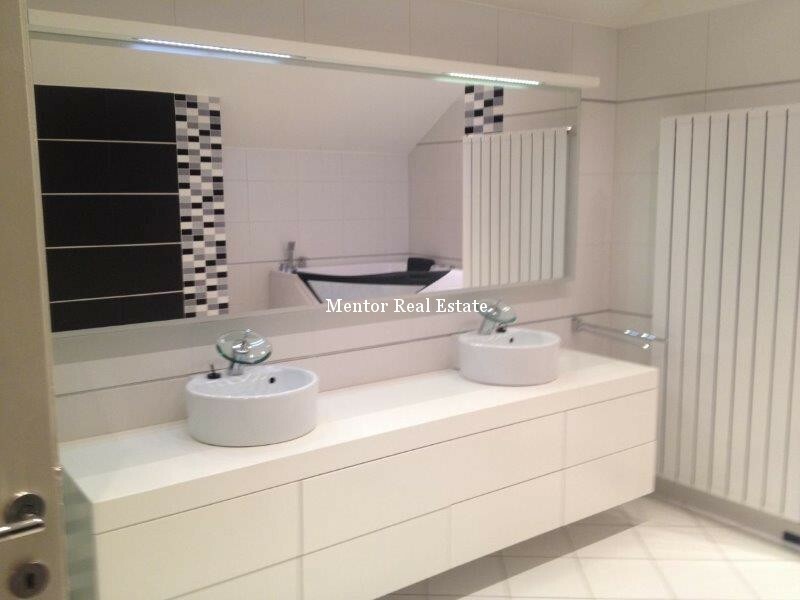 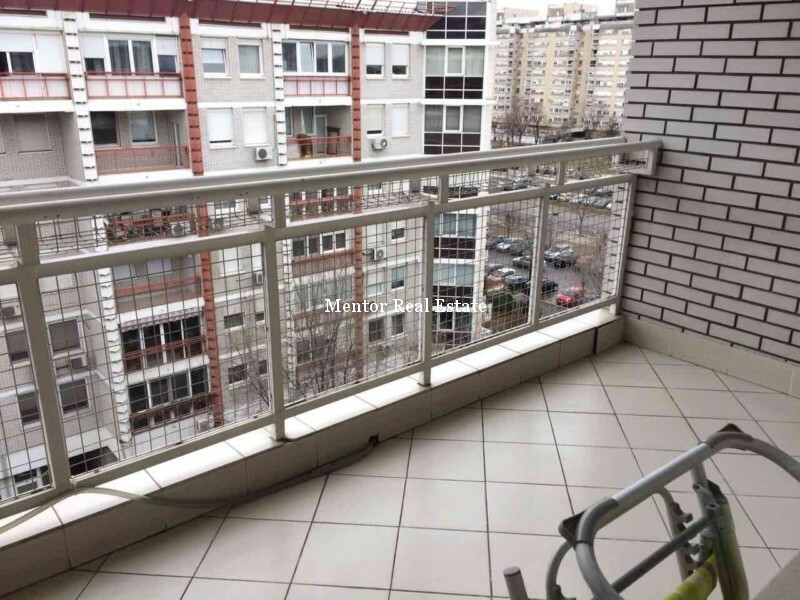 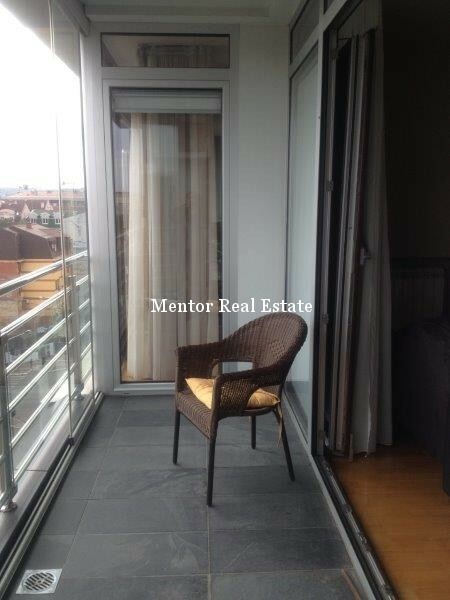 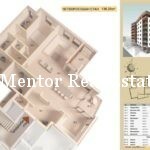 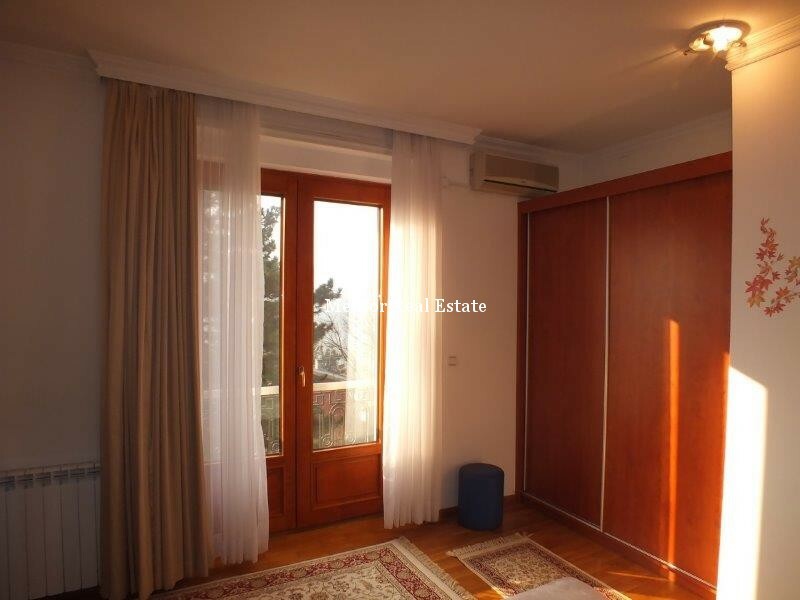 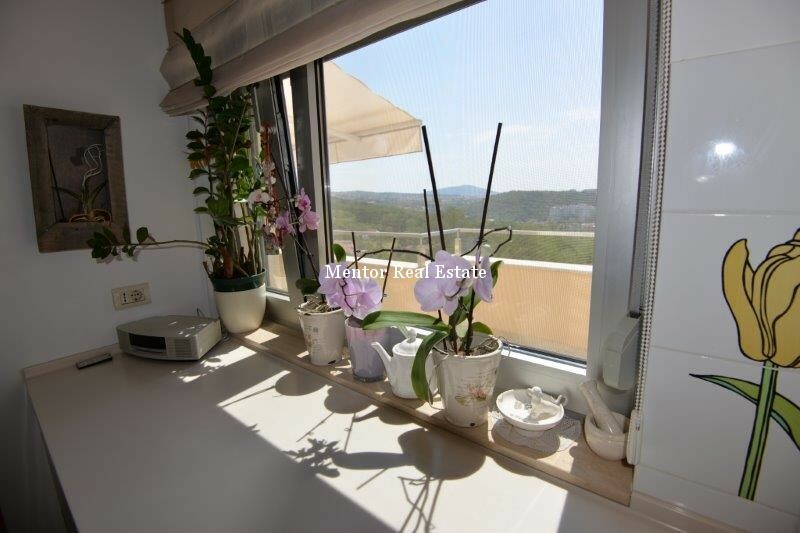 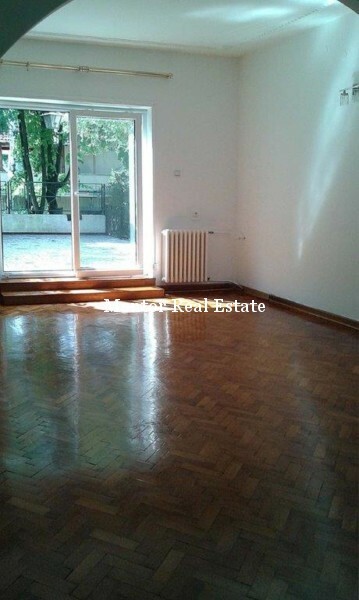 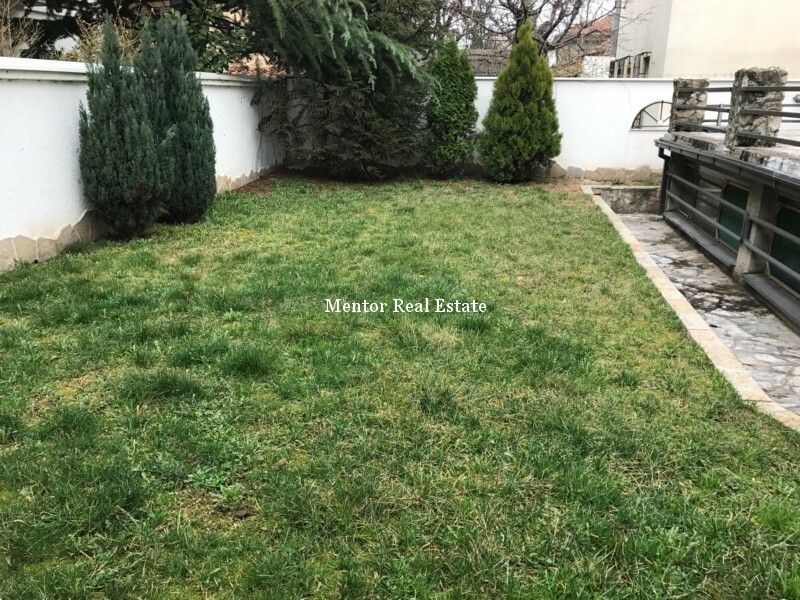 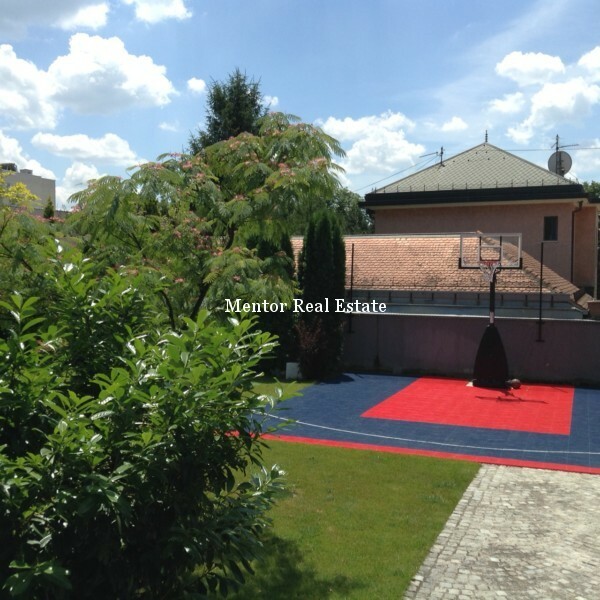 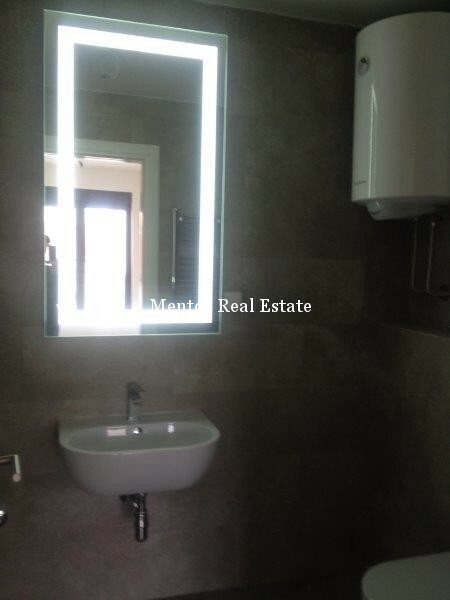 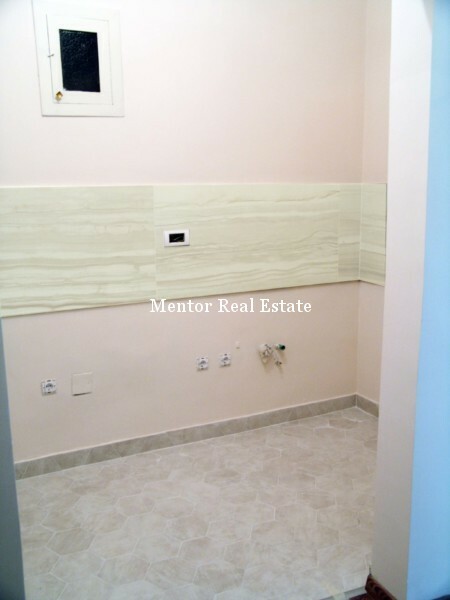 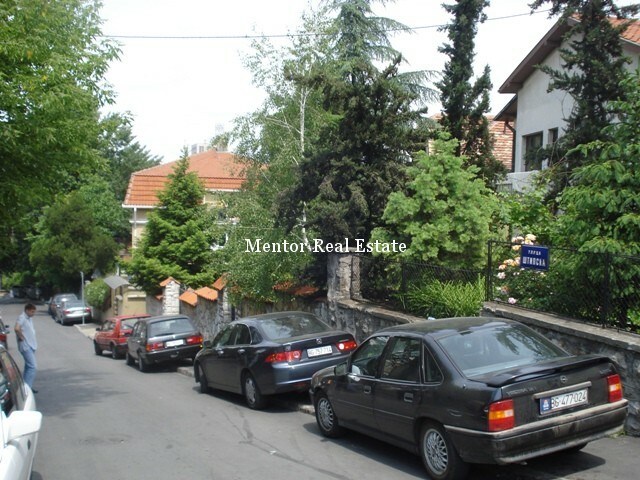 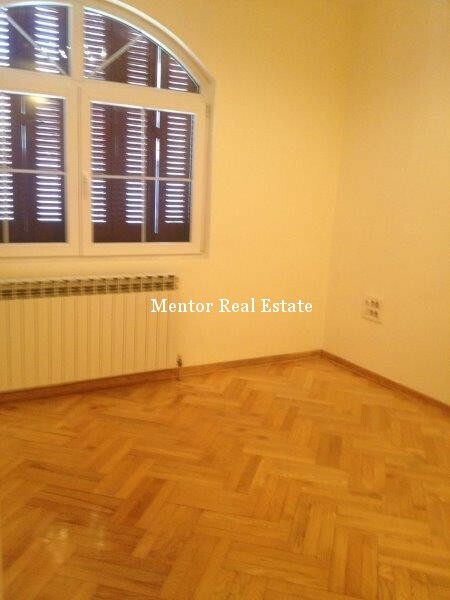 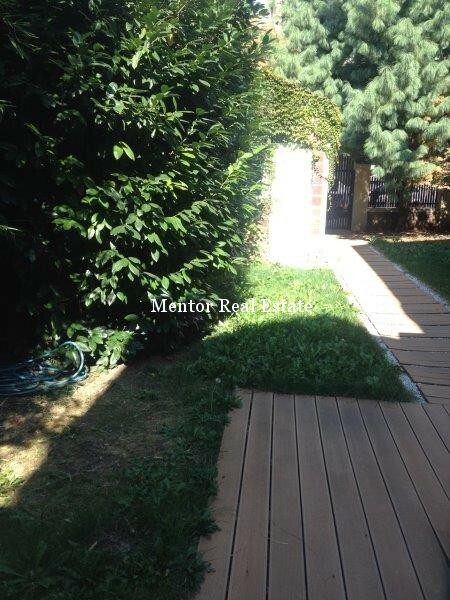 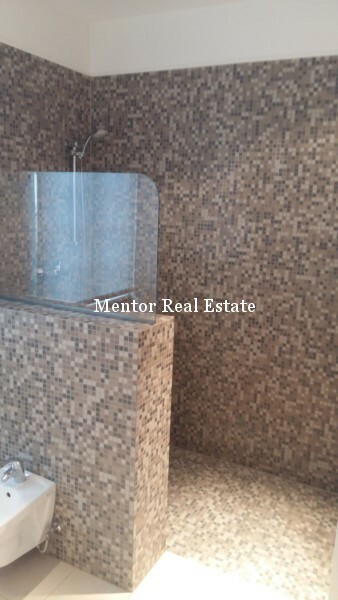 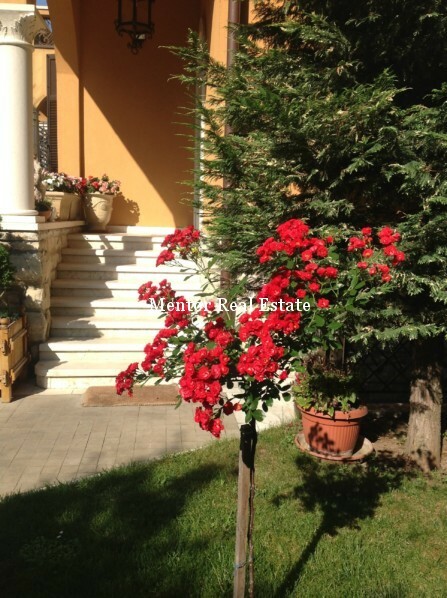 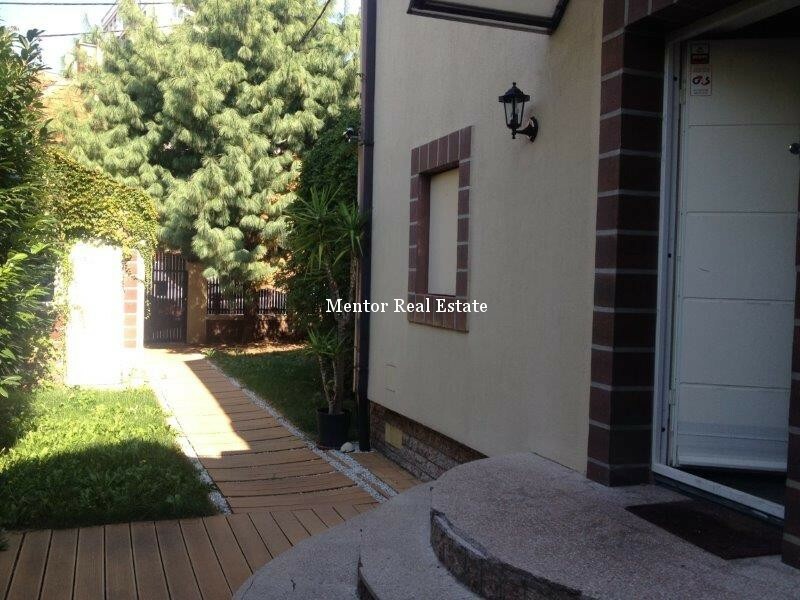 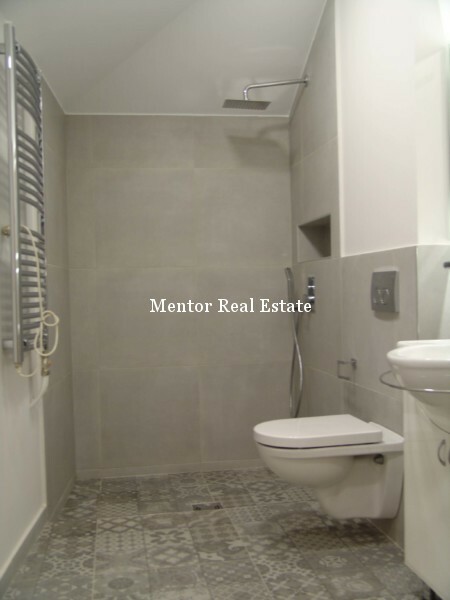 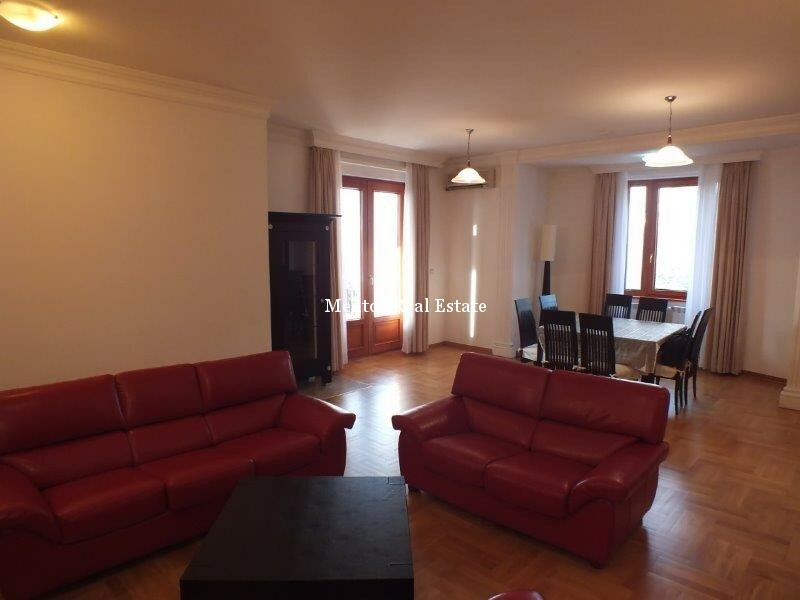 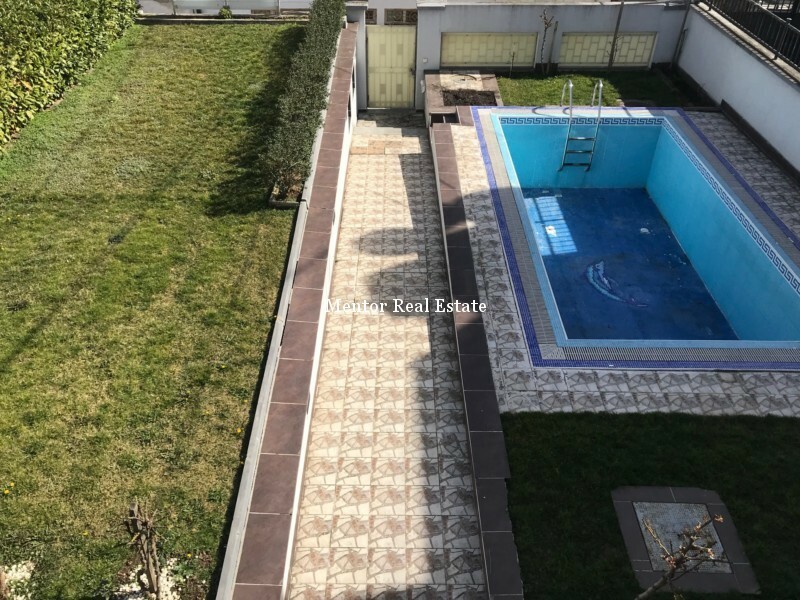 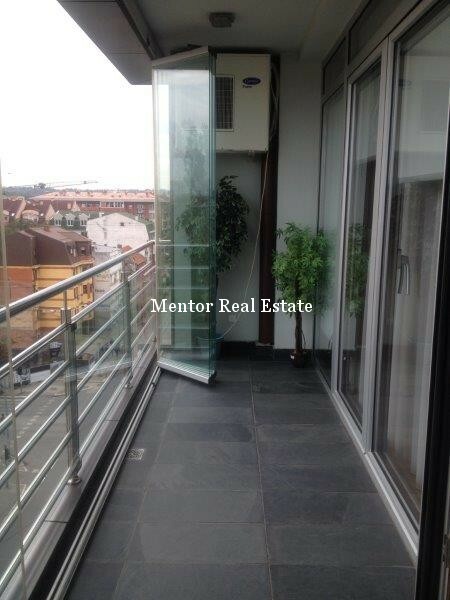 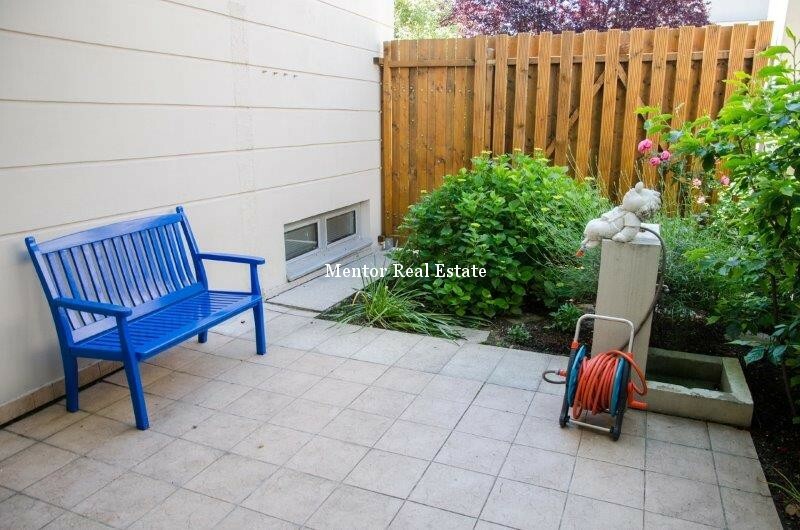 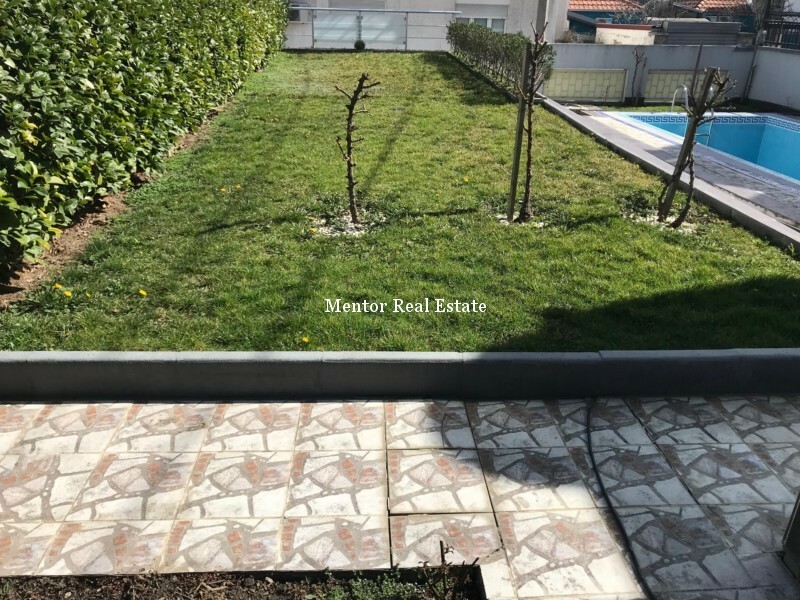 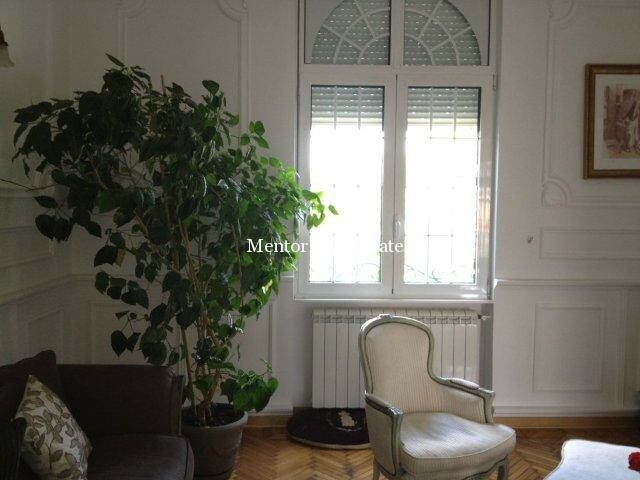 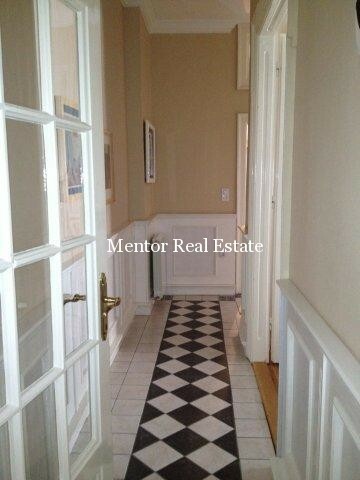 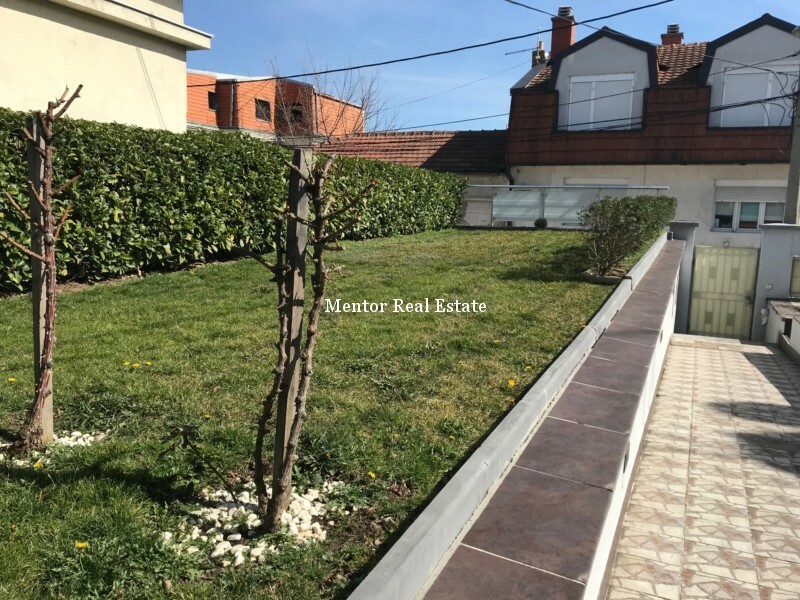 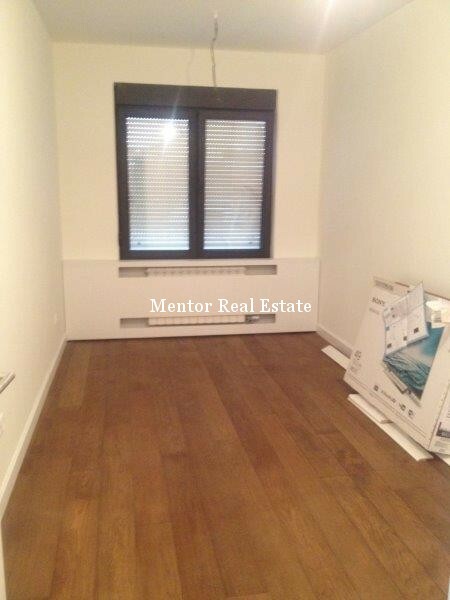 Price per sqm 2200€ price without taxes. 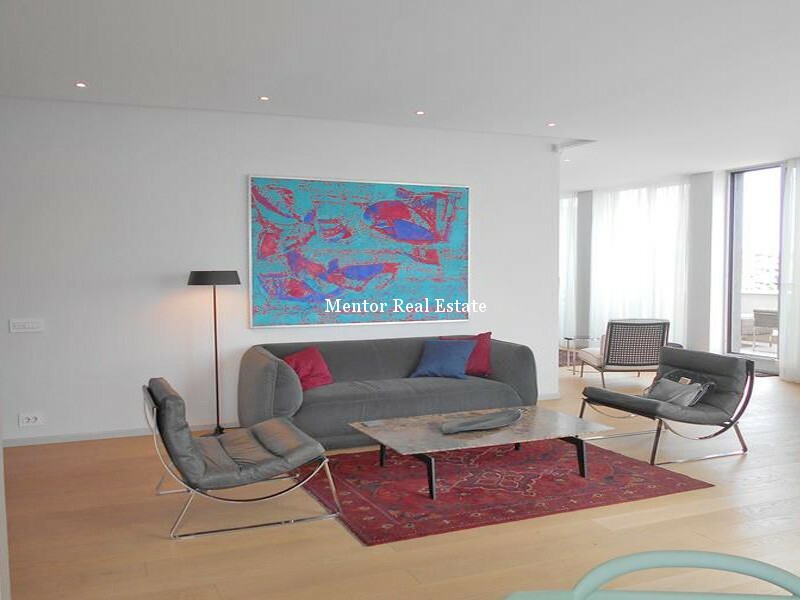 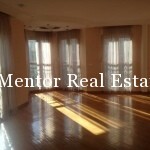 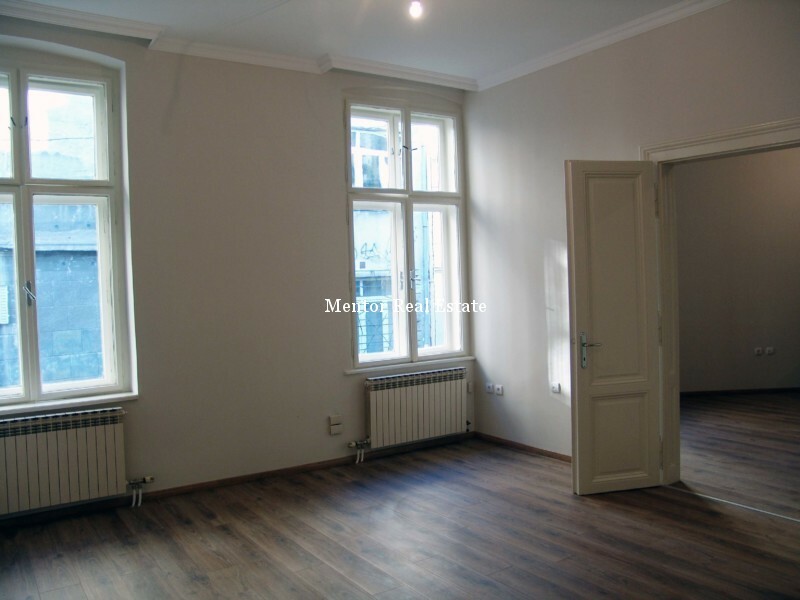 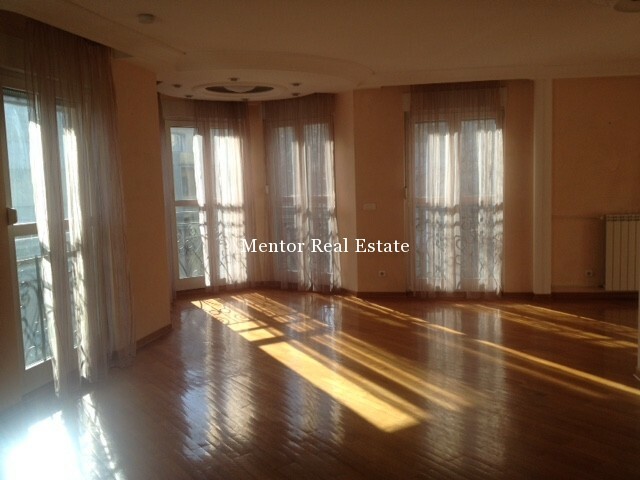 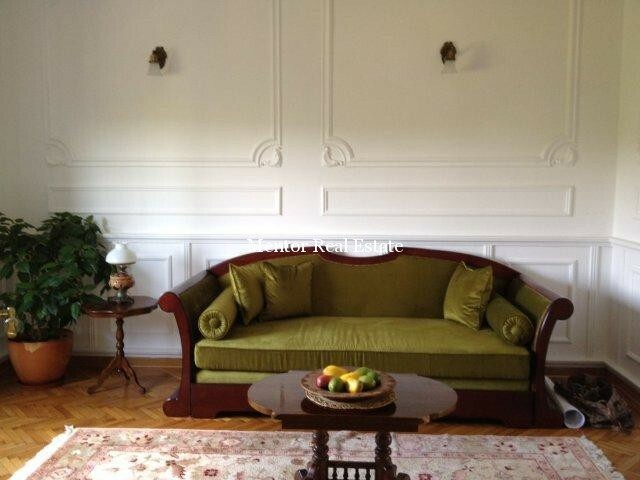 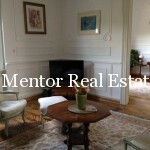 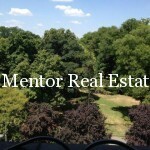 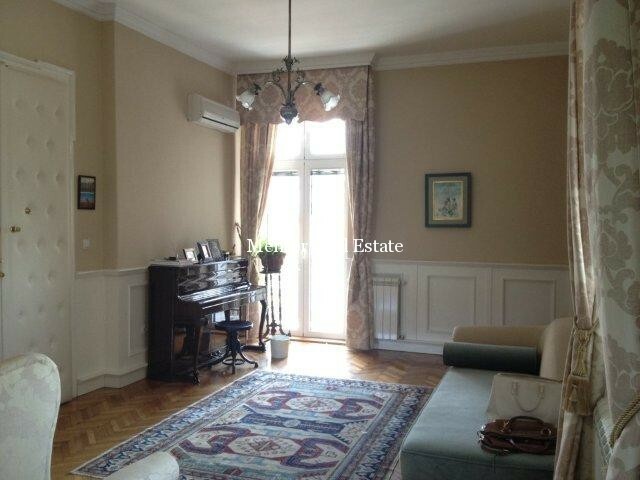 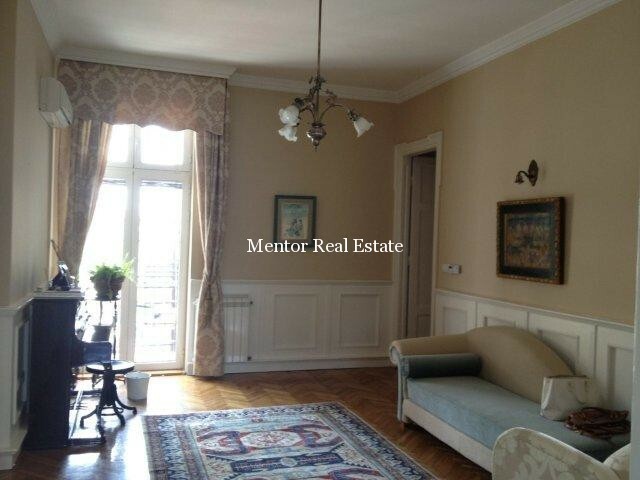 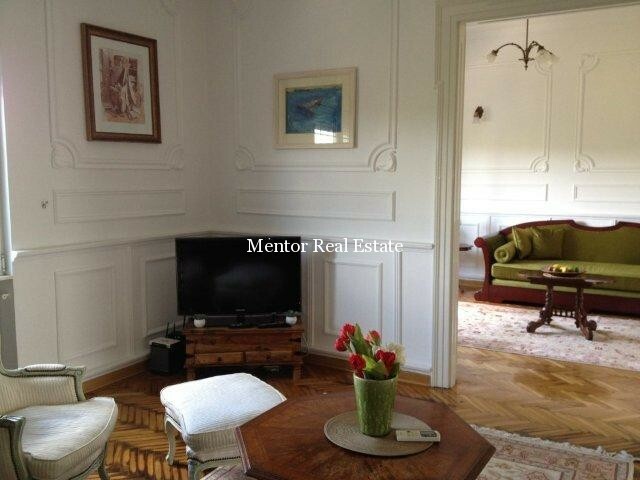 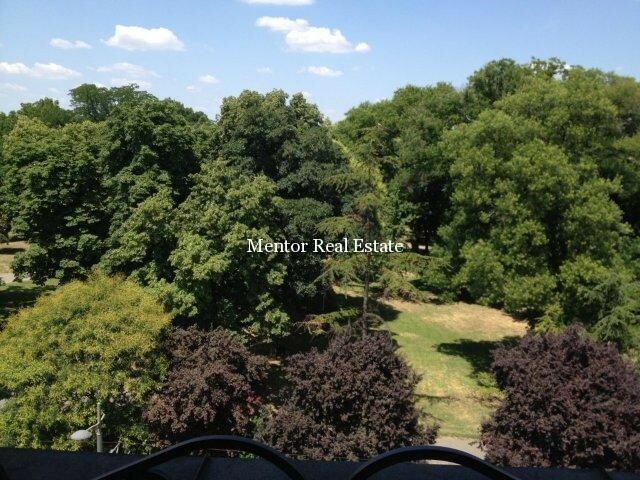 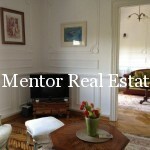 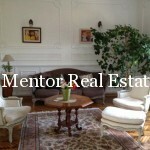 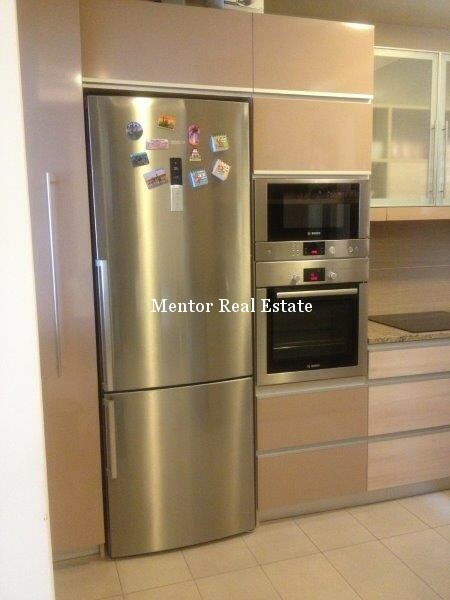 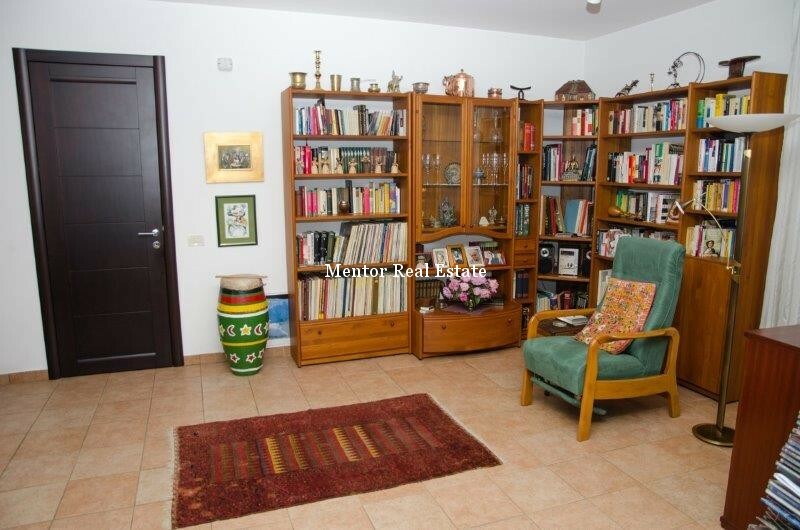 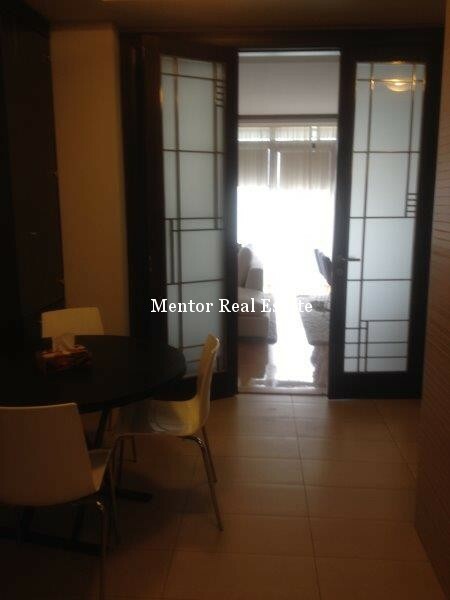 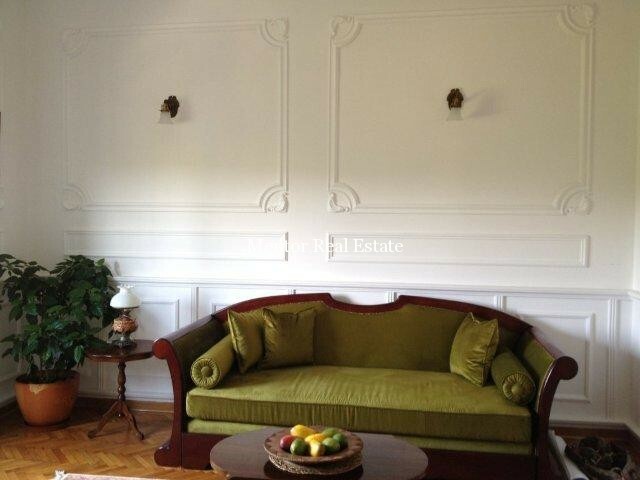 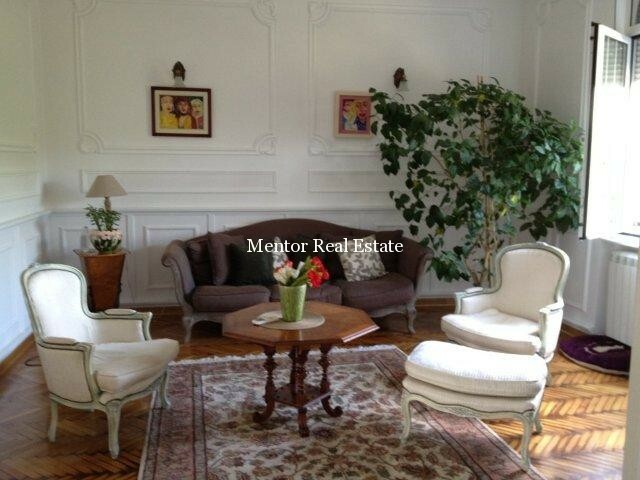 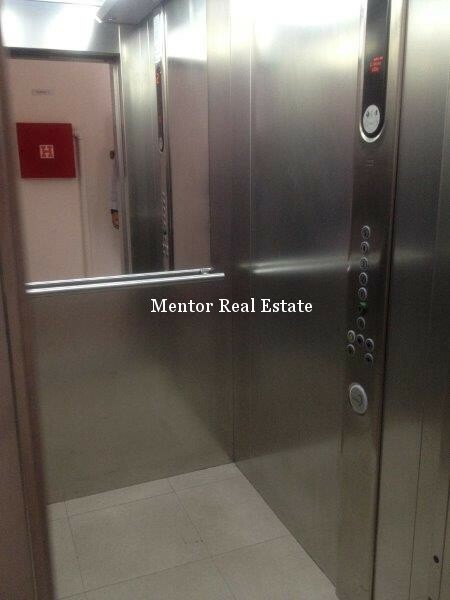 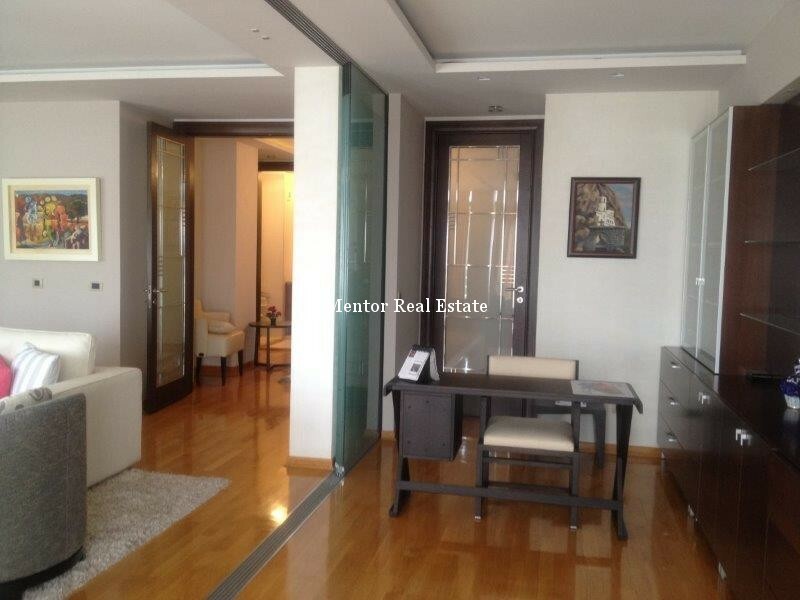 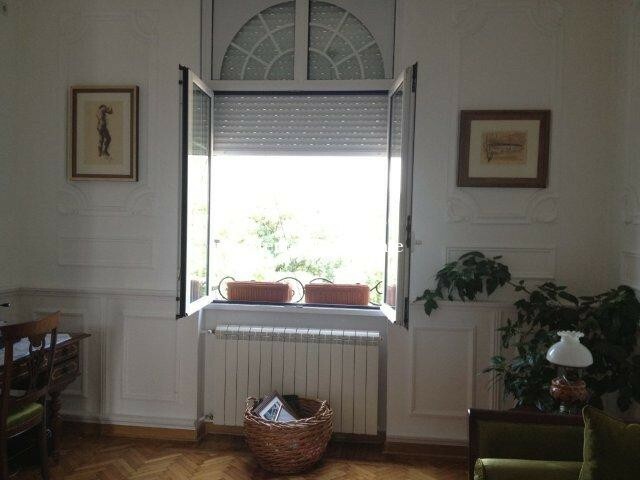 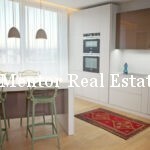 How to rent an apartment to foreign diplomats? 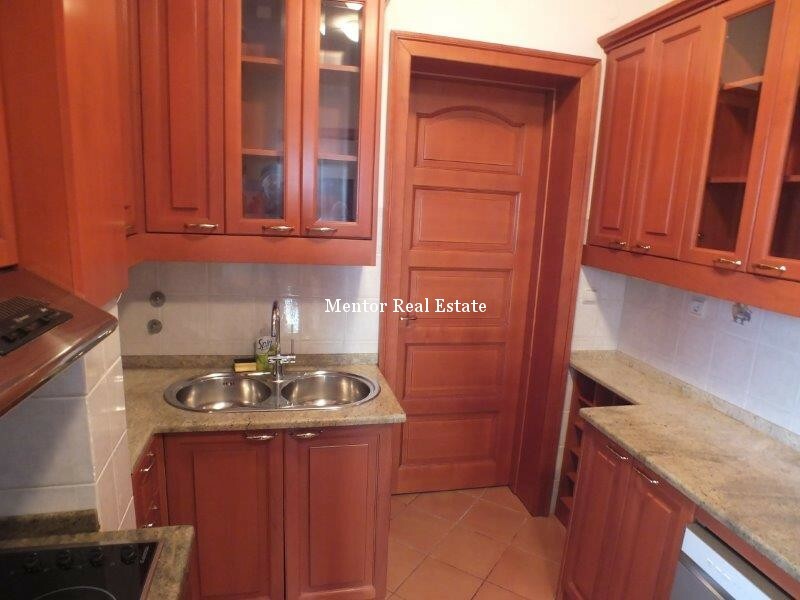 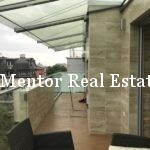 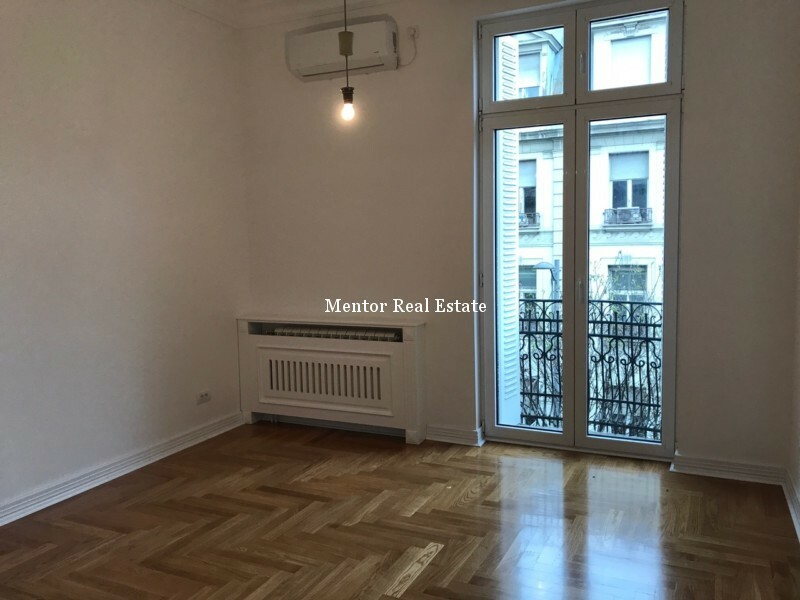 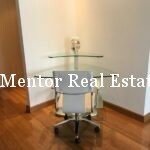 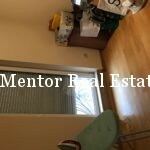 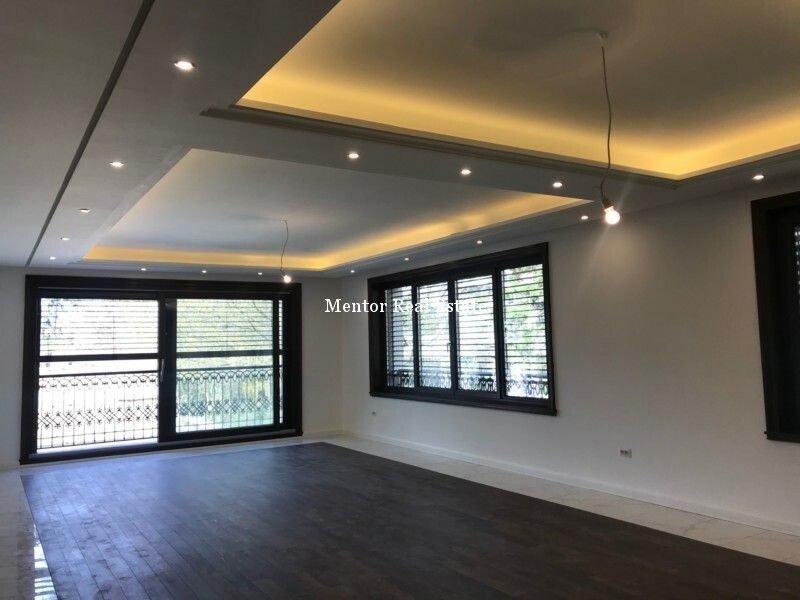 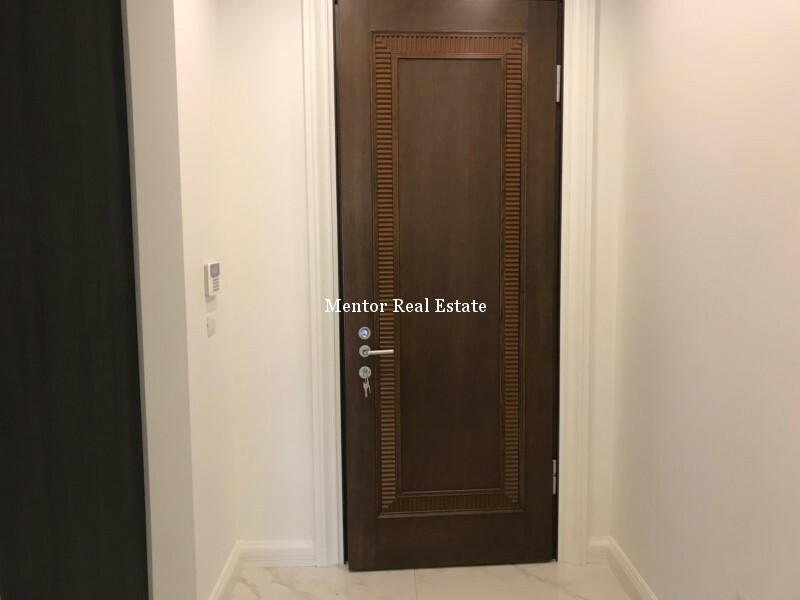 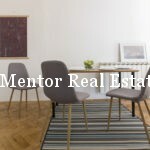 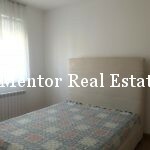 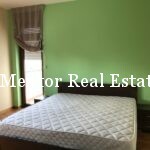 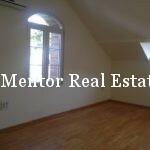 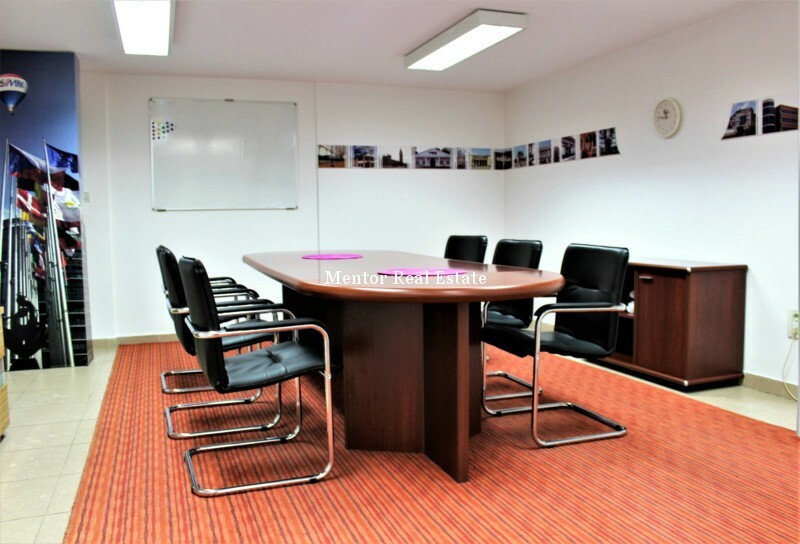 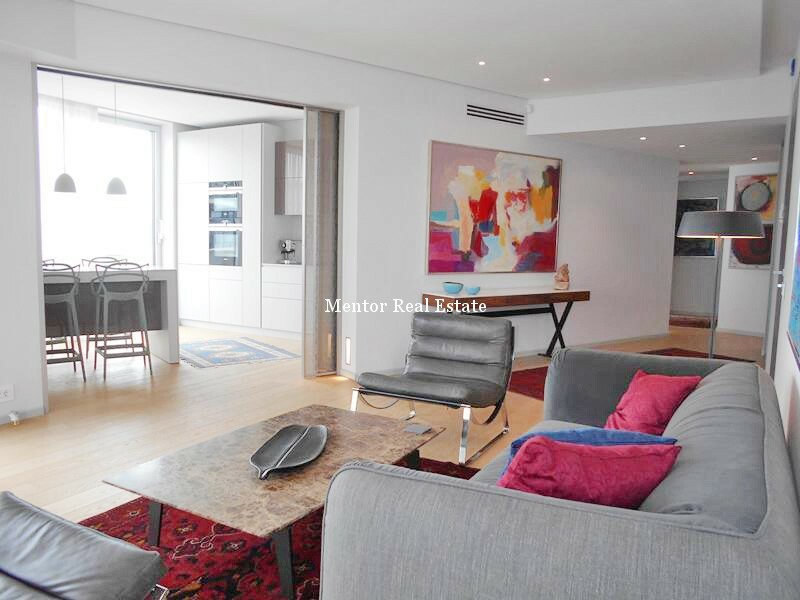 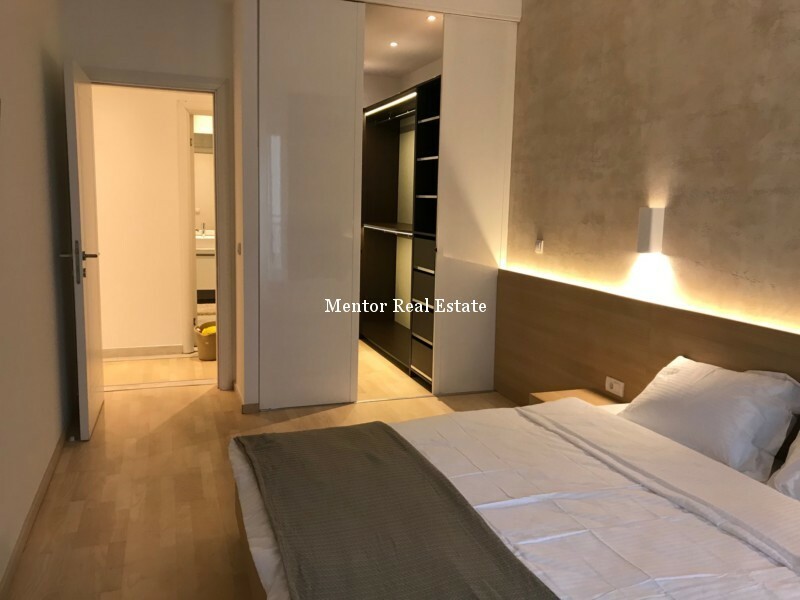 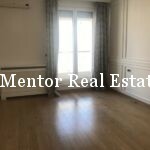 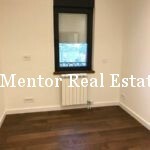 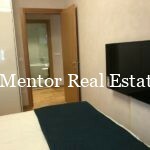 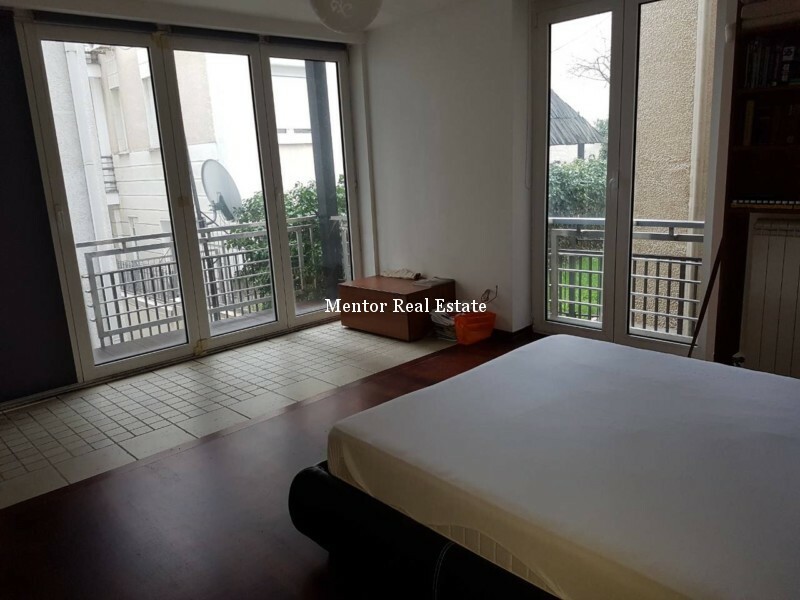 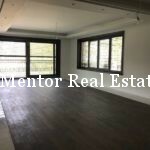 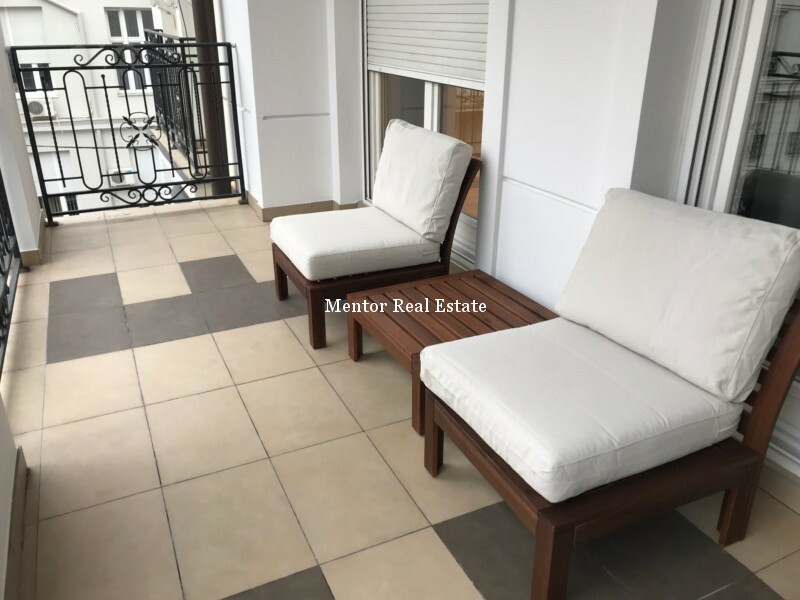 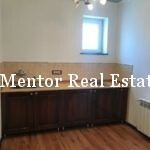 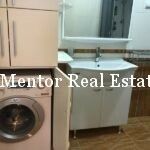 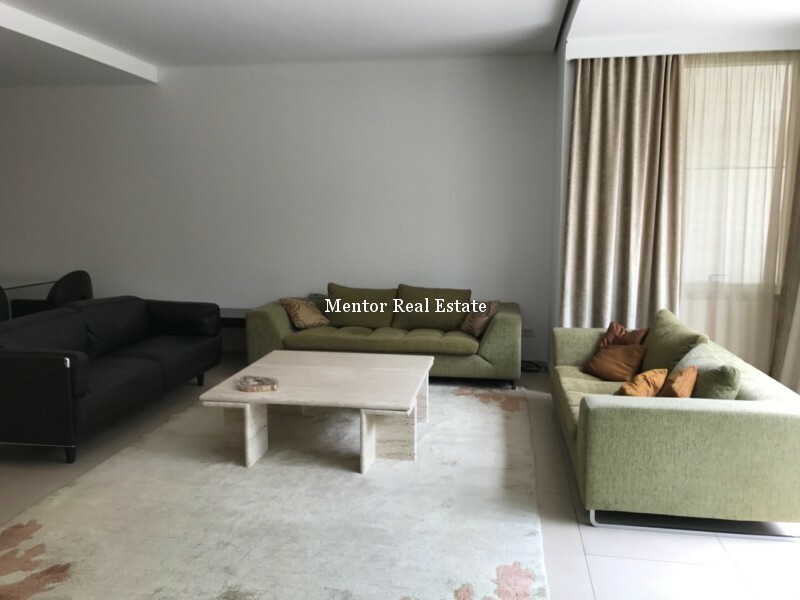 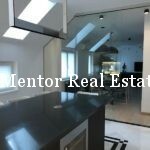 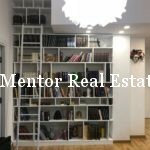 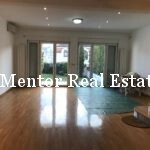 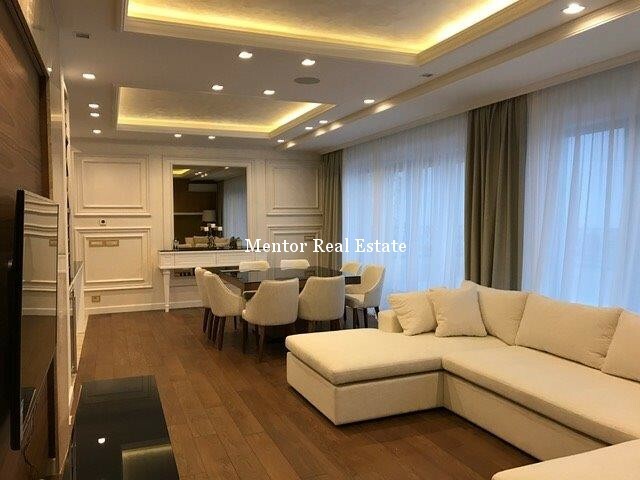 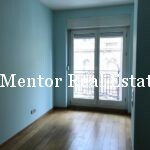 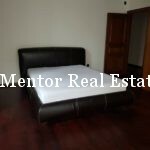 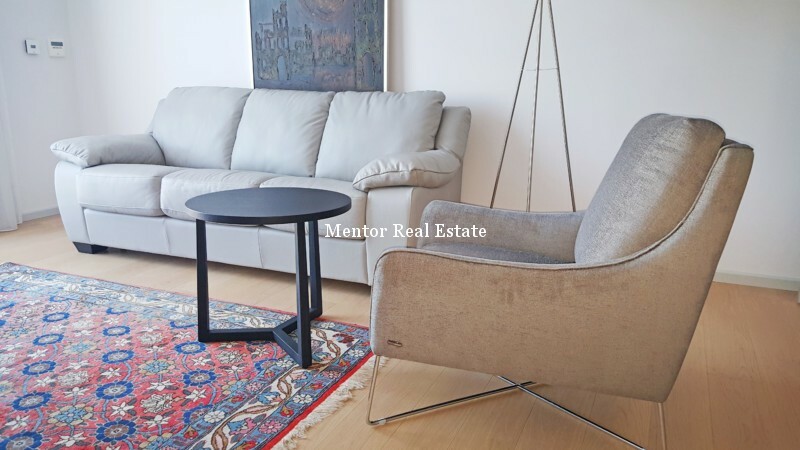 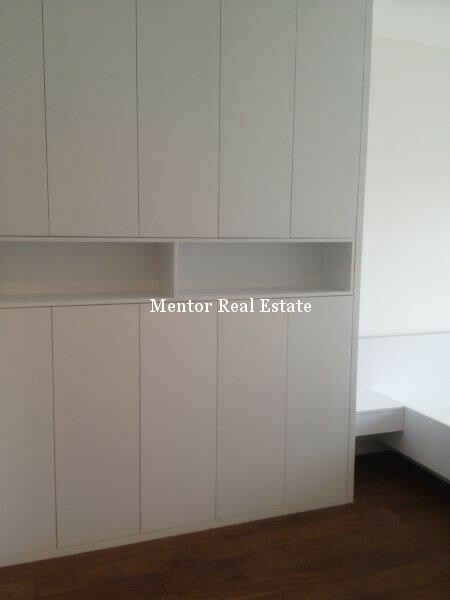 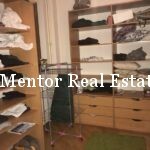 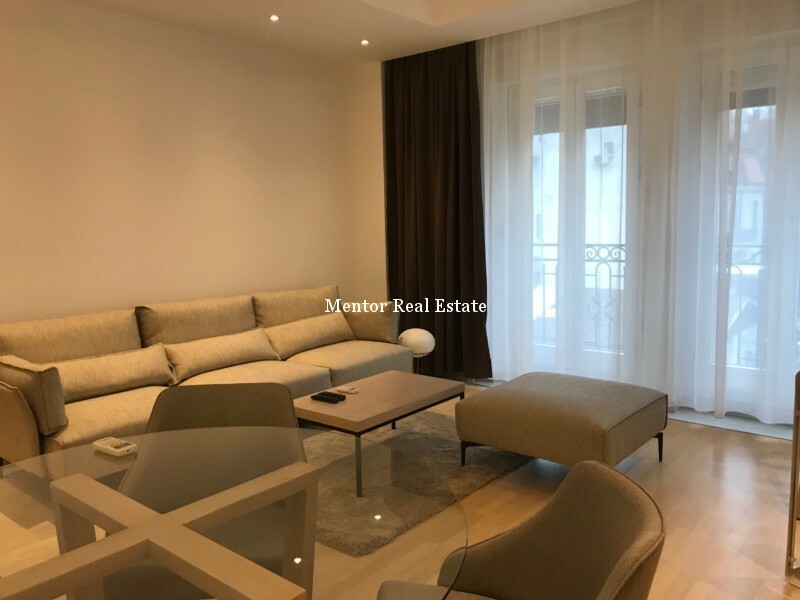 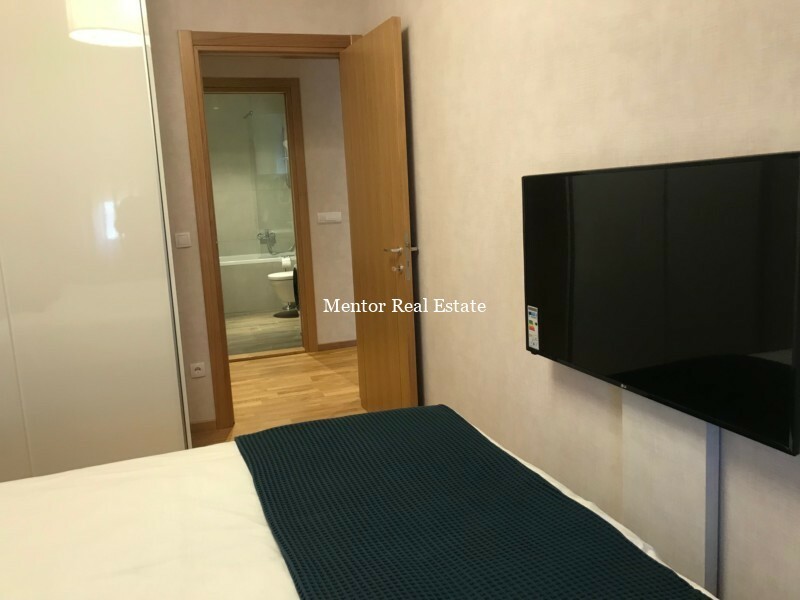 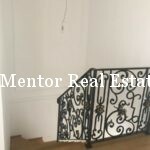 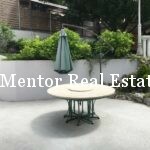 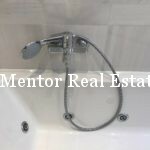 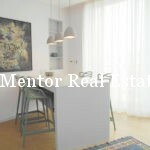 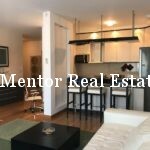 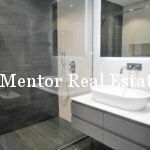 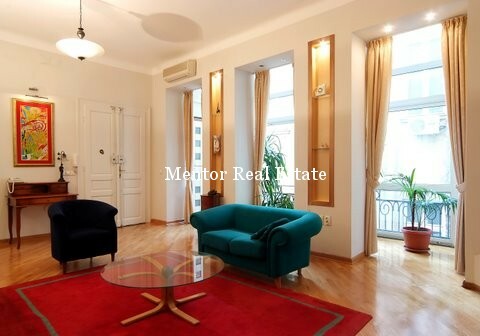 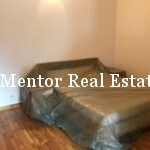 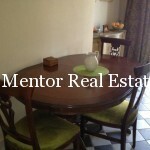 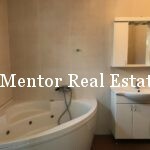 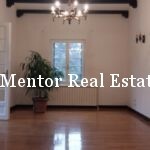 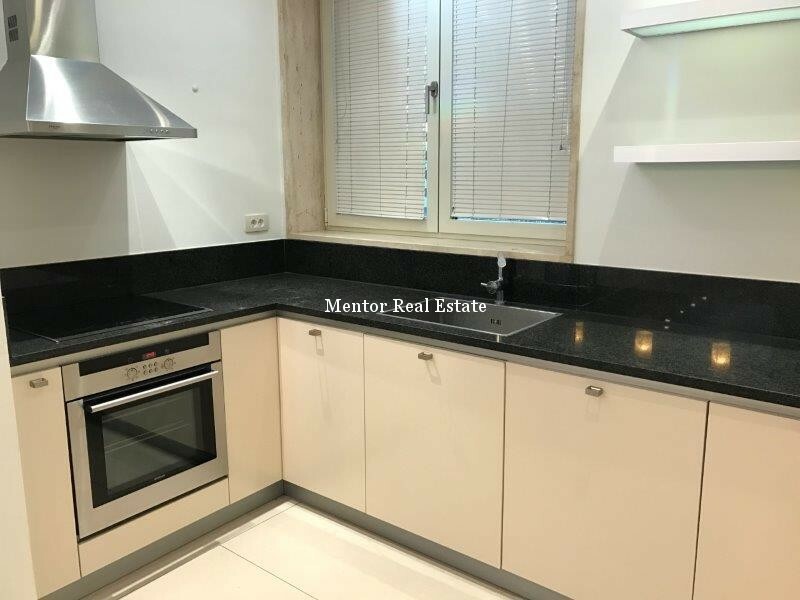 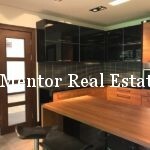 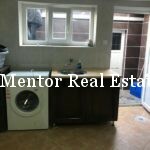 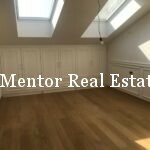 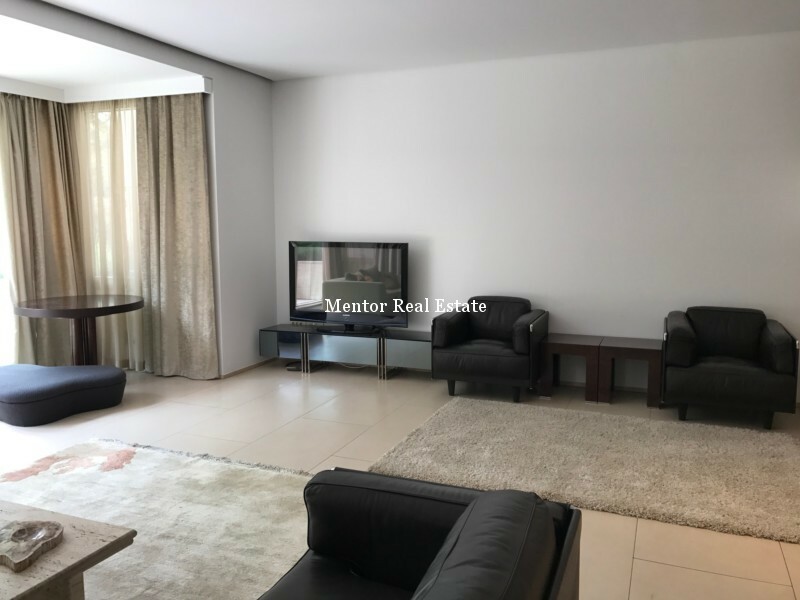 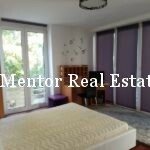 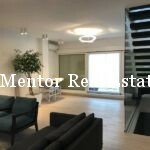 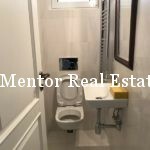 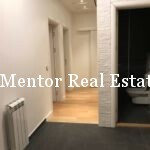 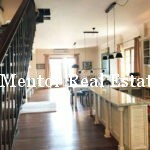 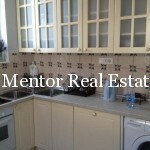 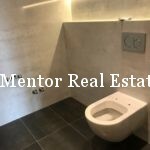 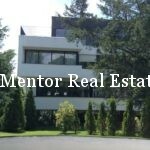 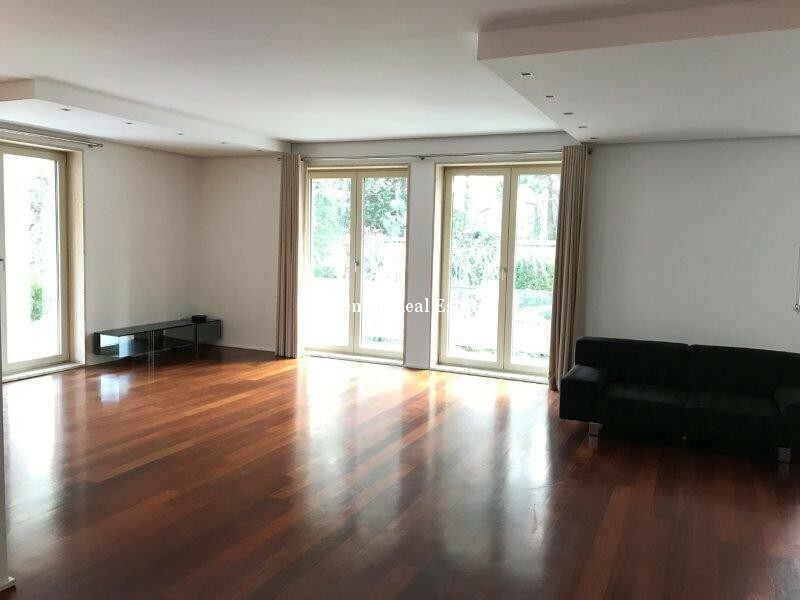 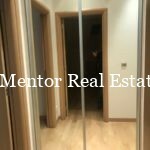 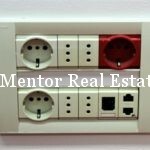 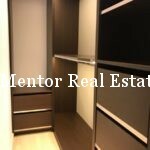 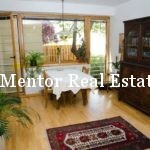 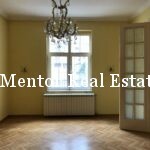 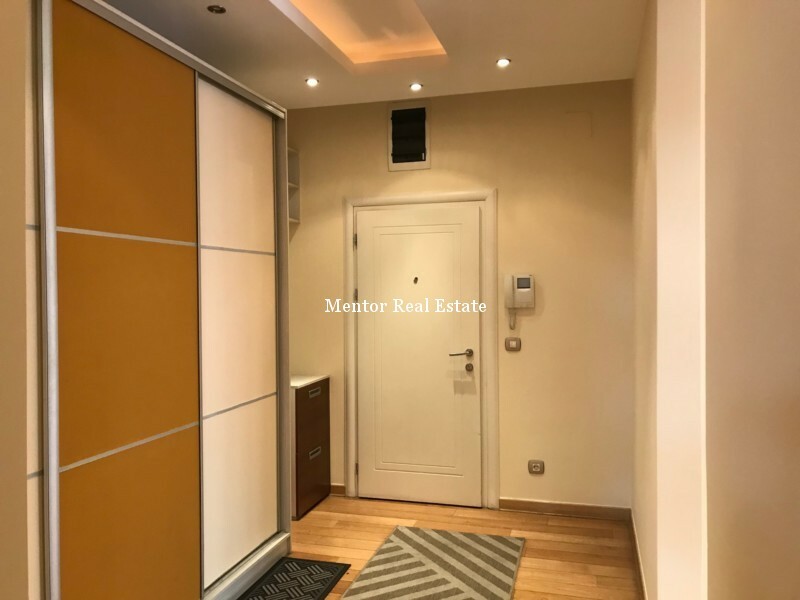 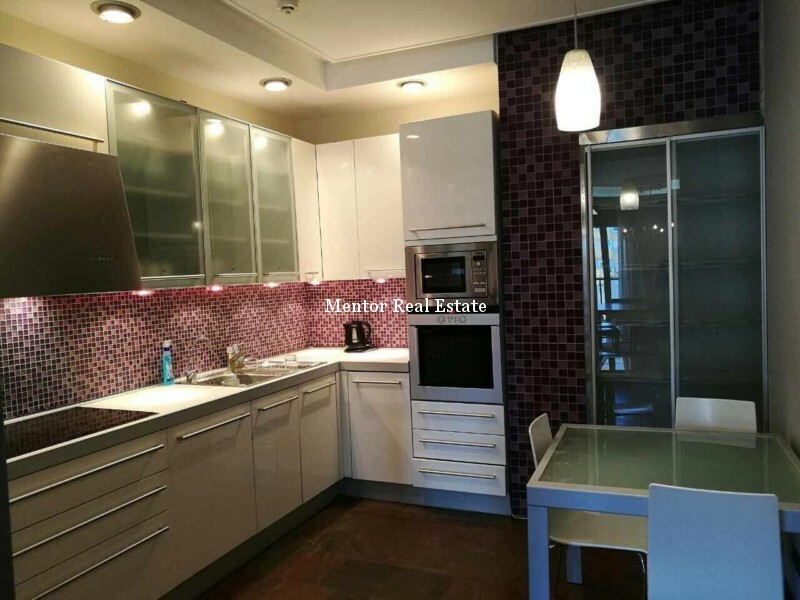 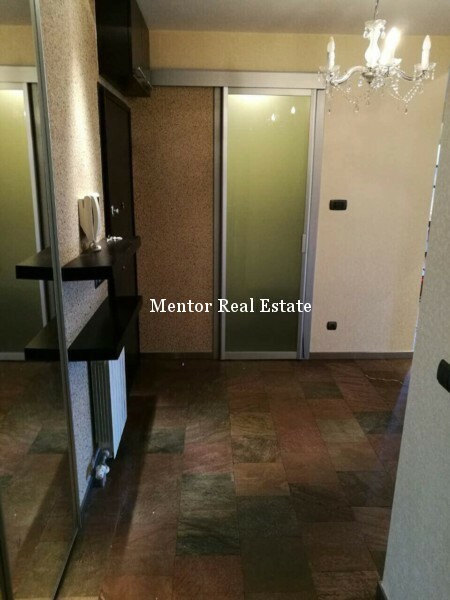 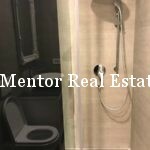 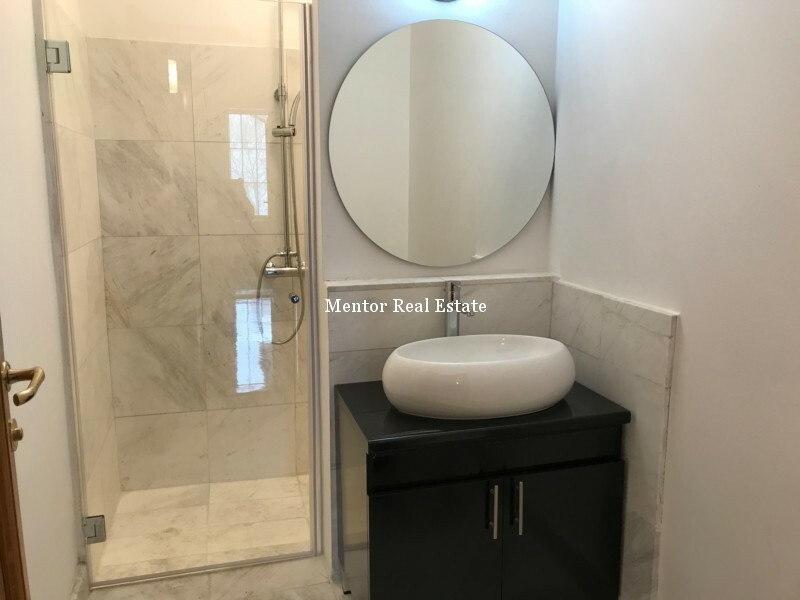 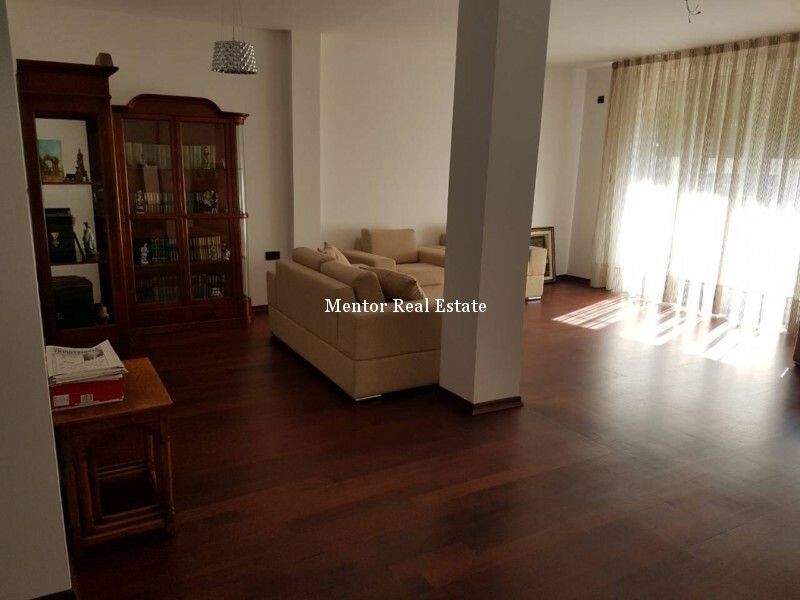 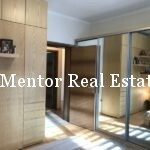 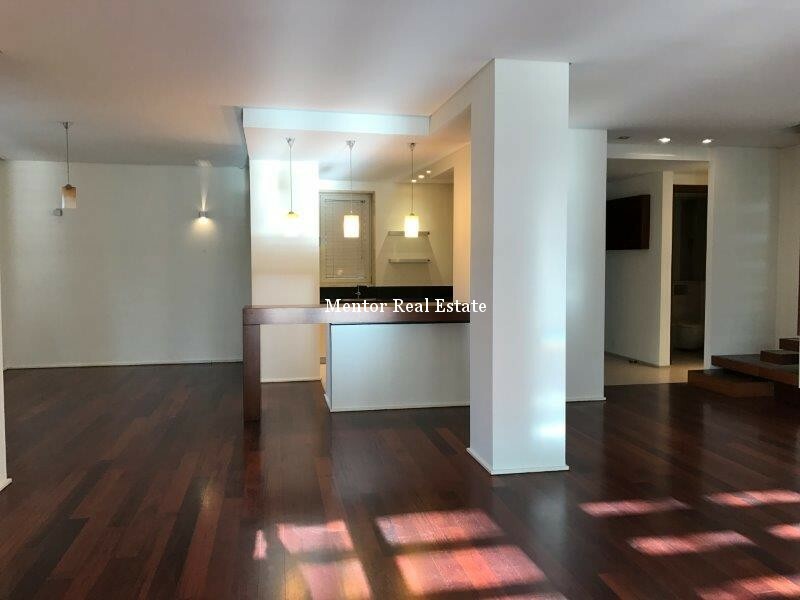 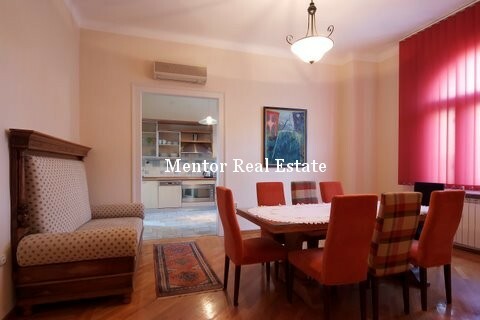 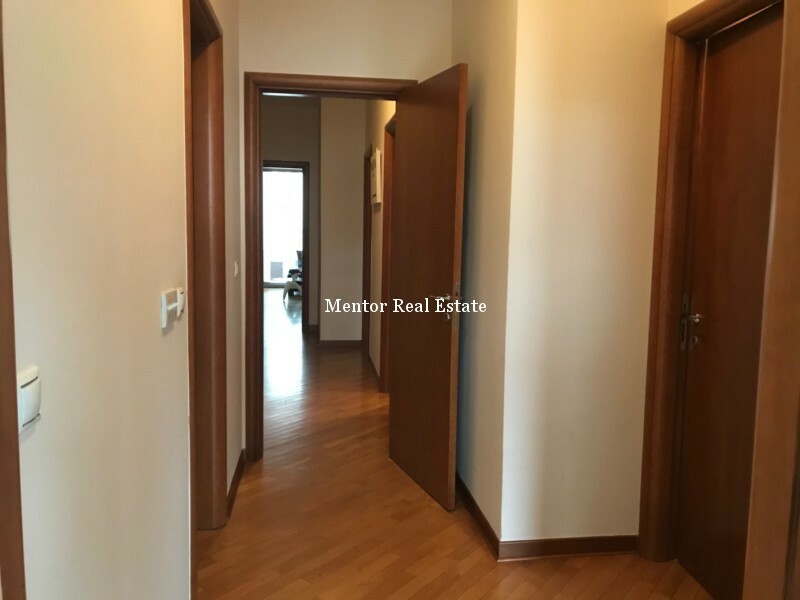 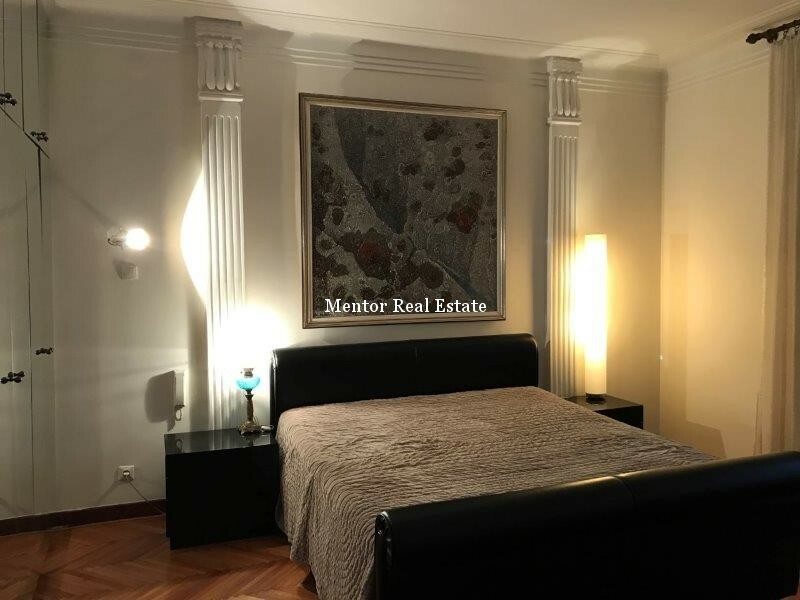 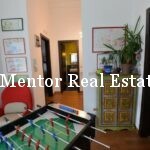 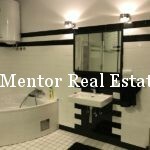 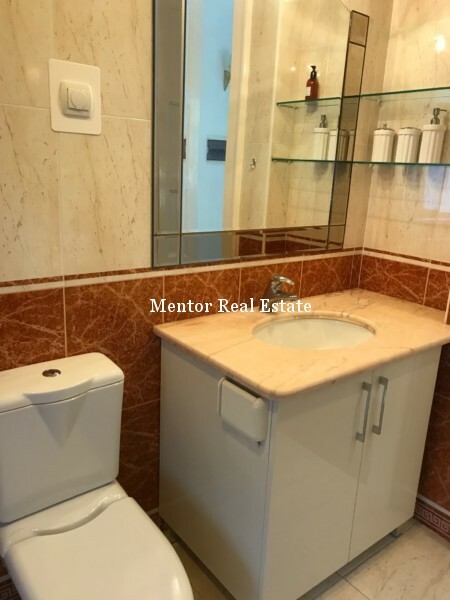 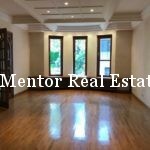 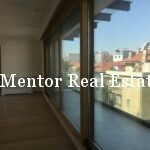 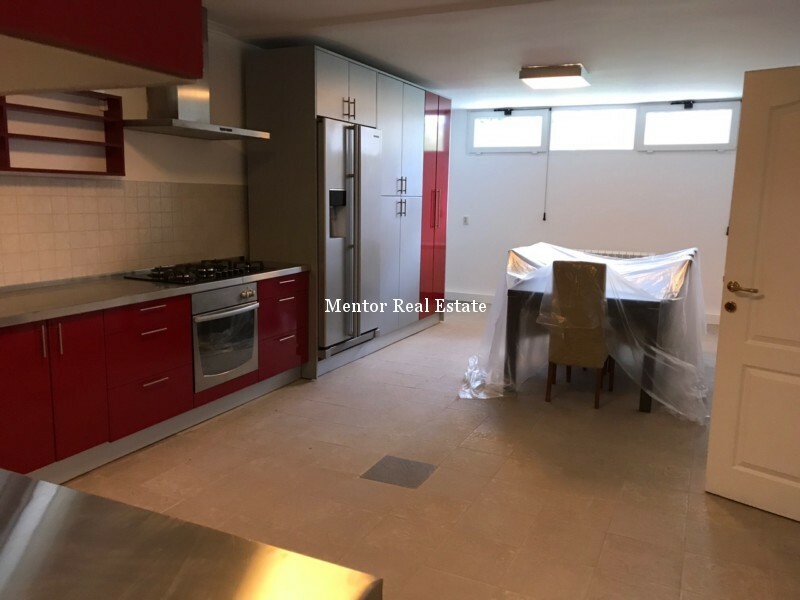 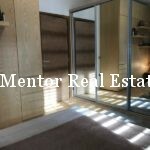 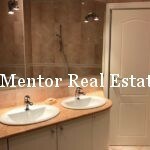 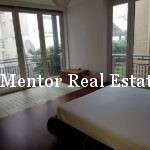 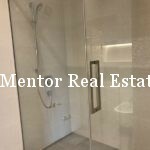 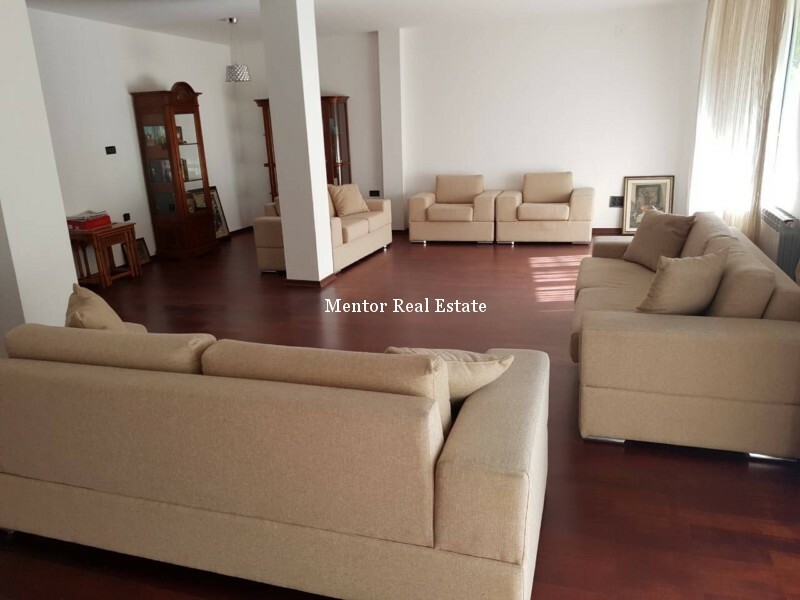 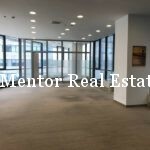 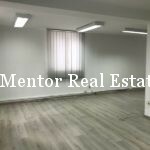 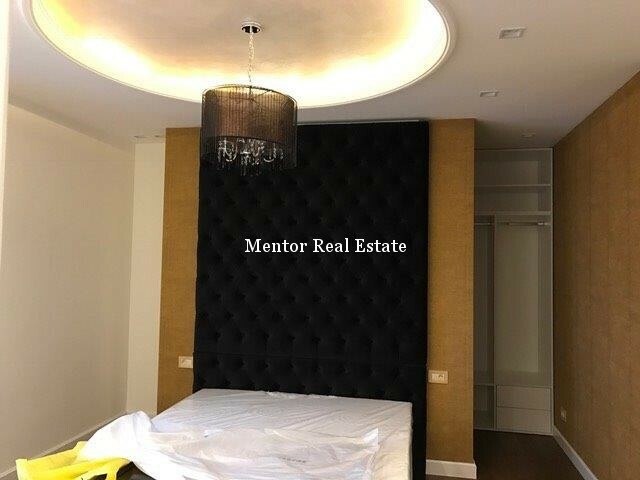 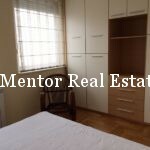 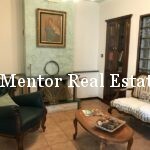 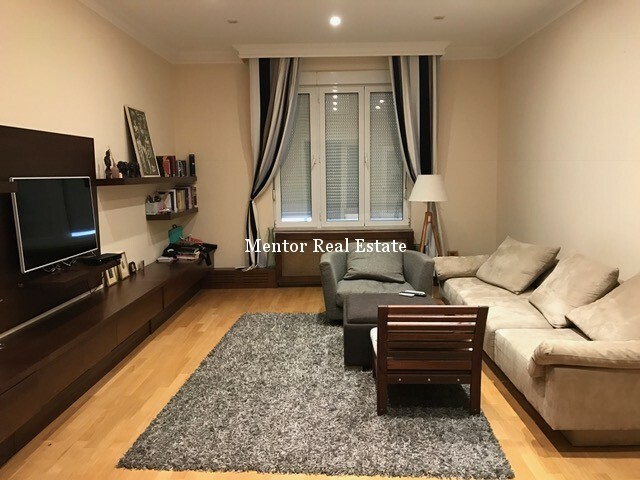 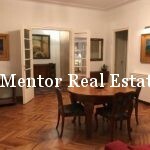 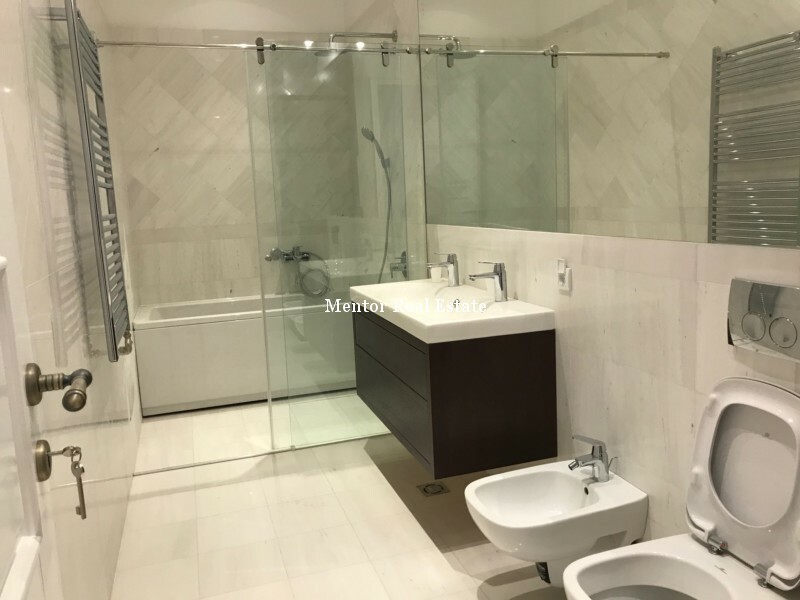 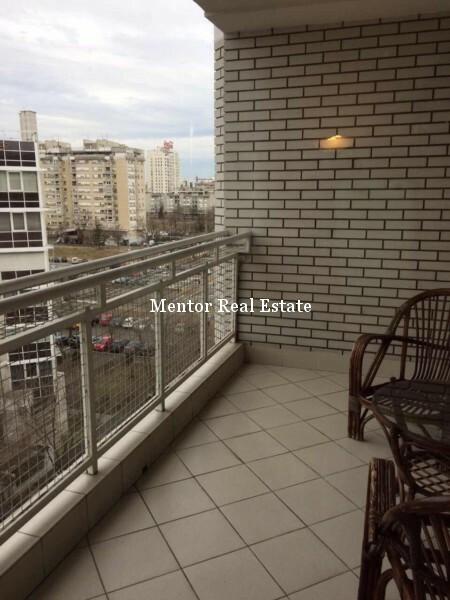 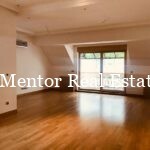 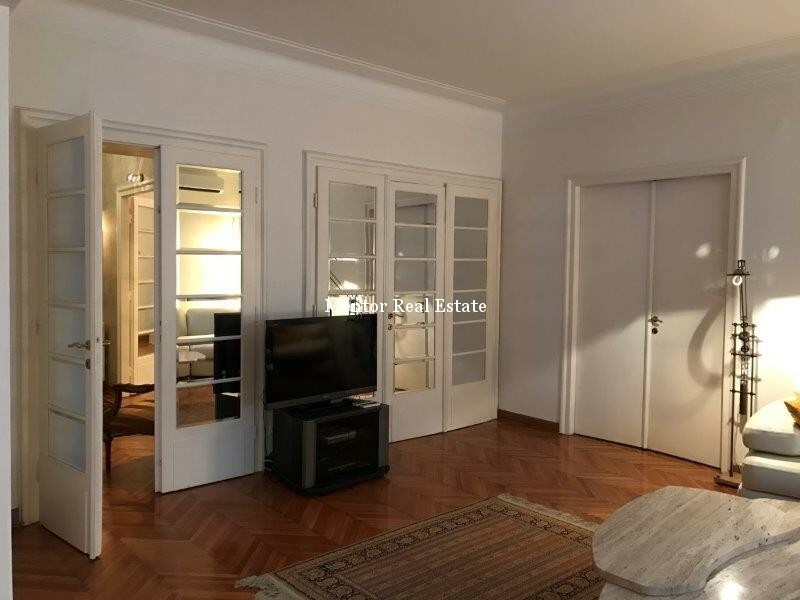 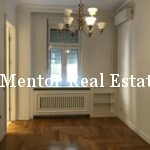 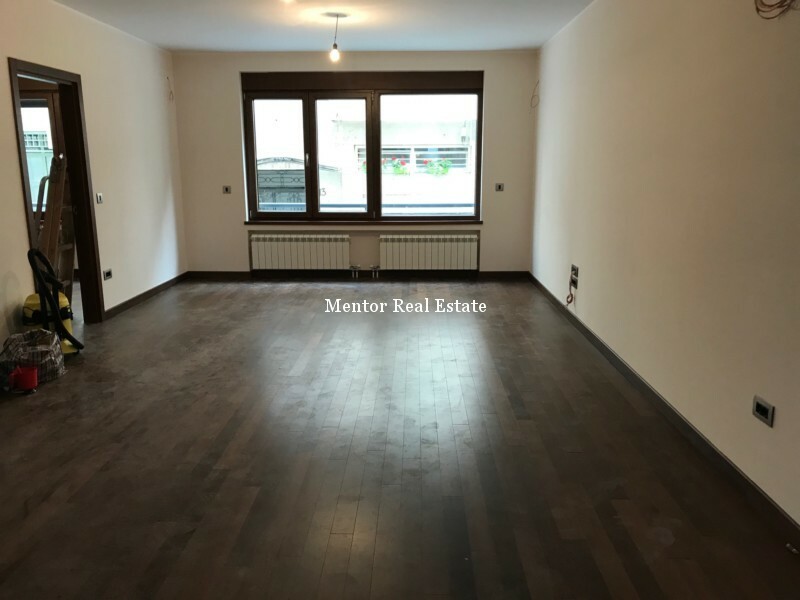 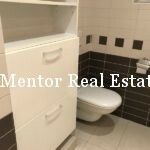 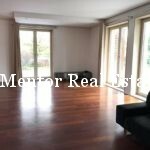 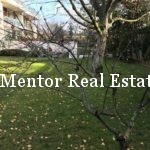 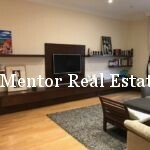 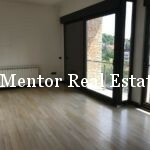 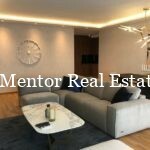 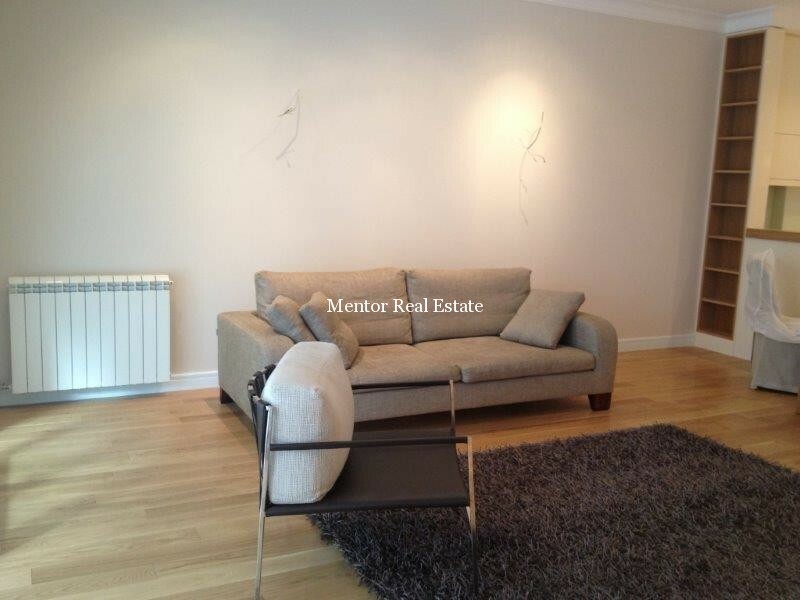 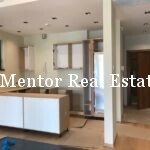 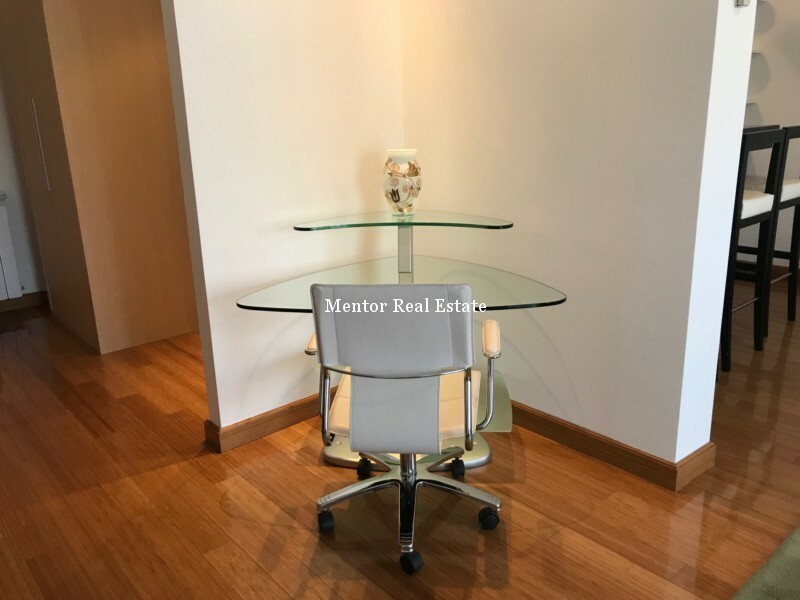 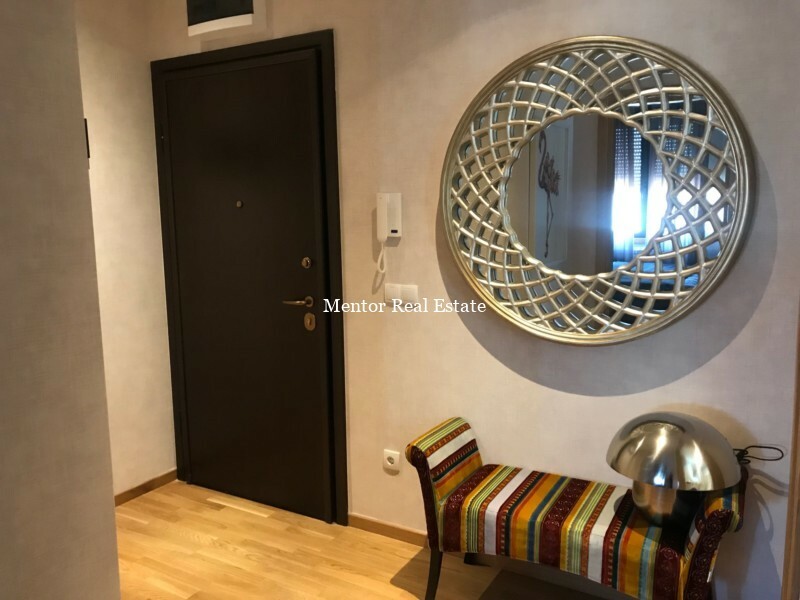 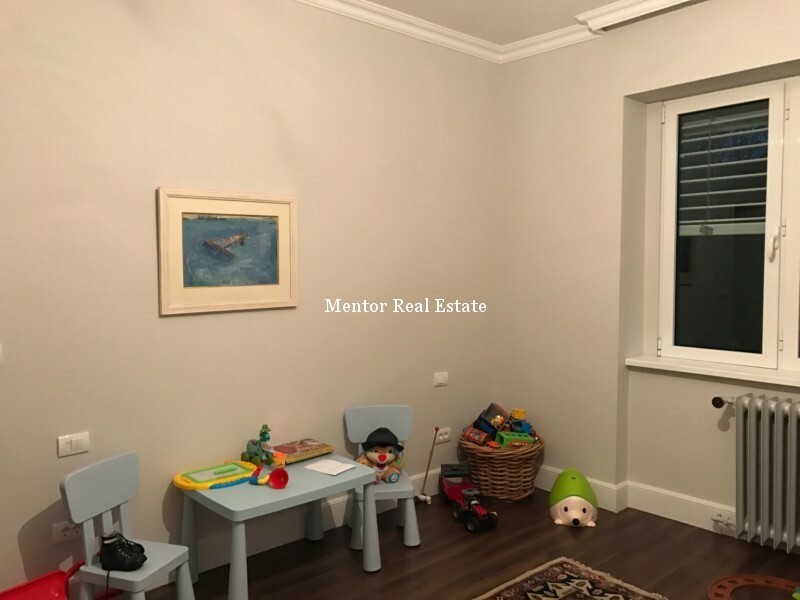 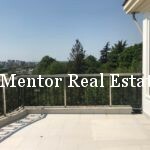 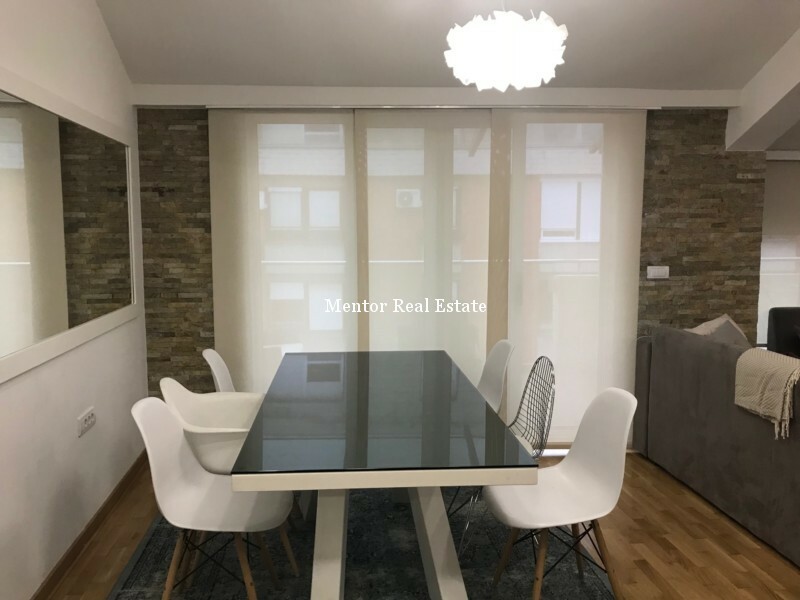 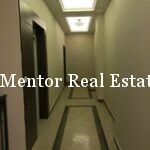 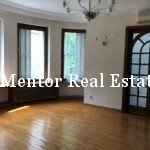 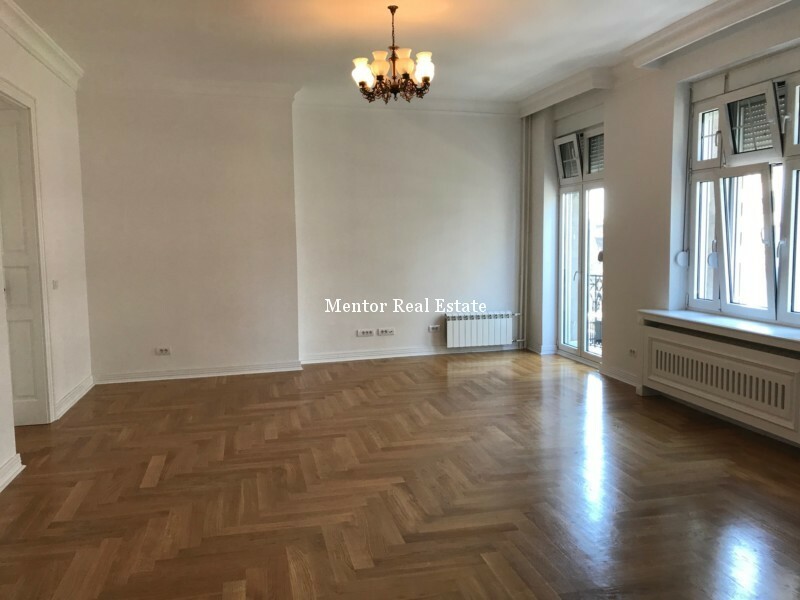 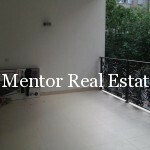 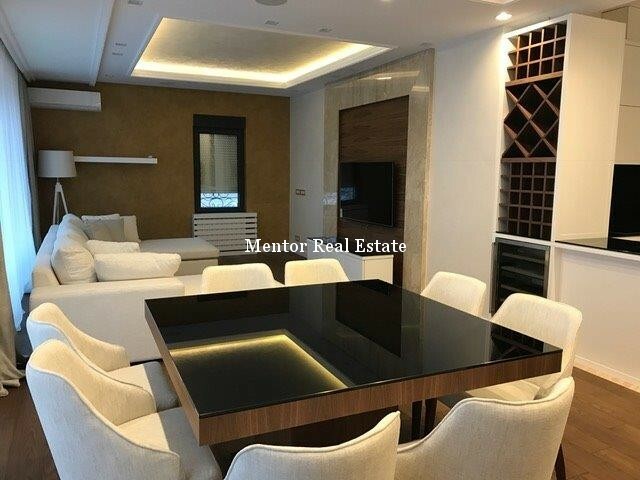 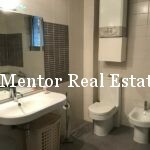 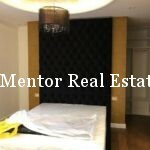 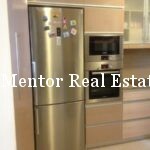 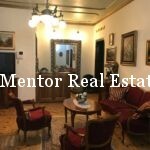 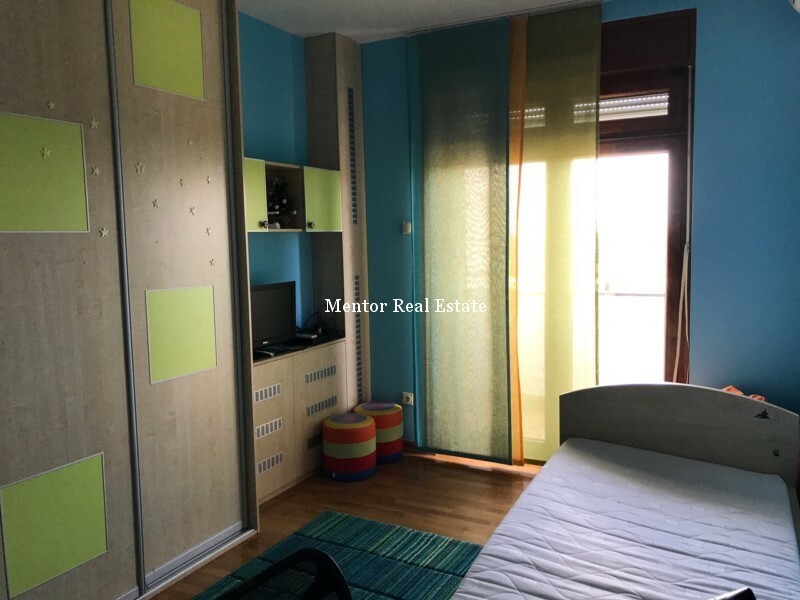 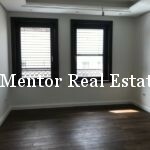 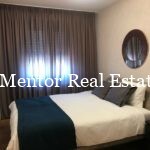 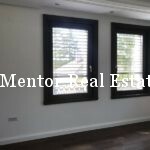 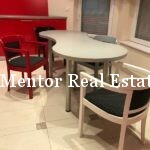 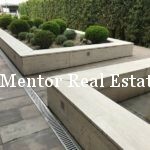 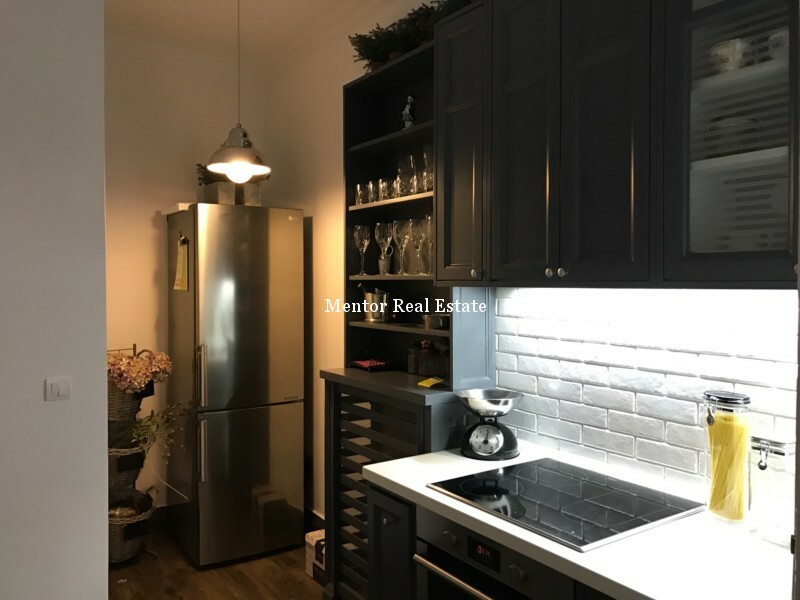 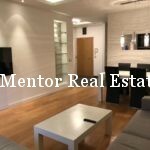 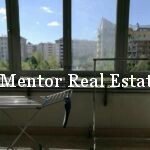 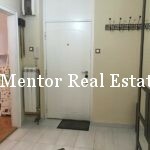 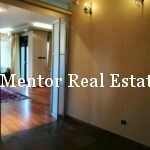 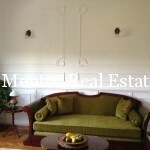 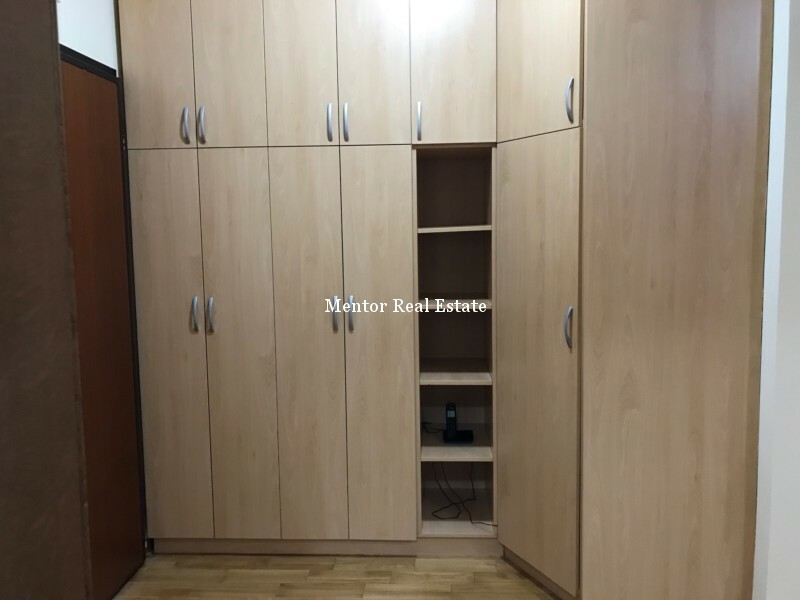 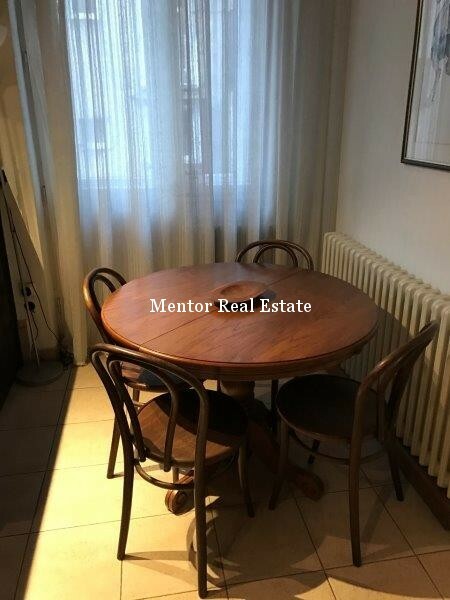 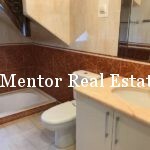 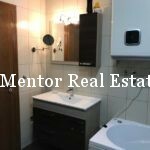 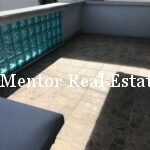 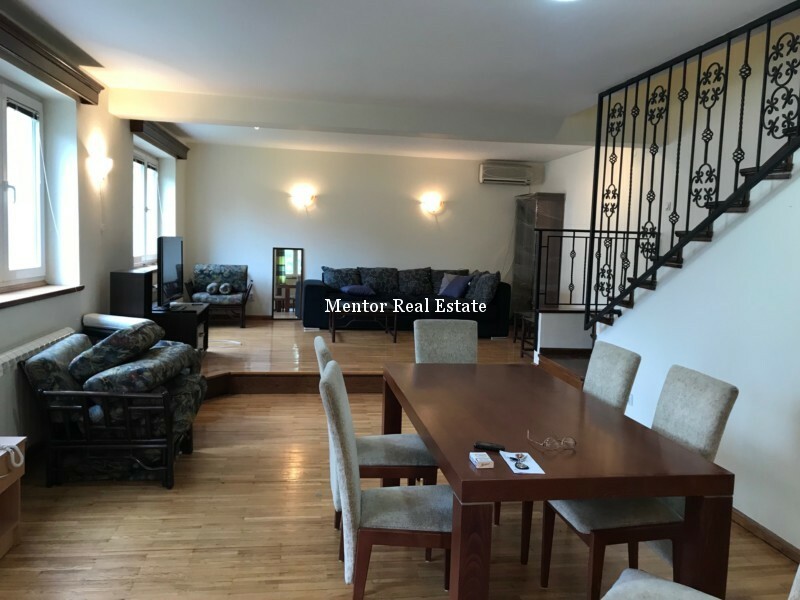 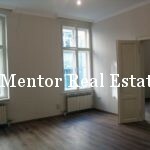 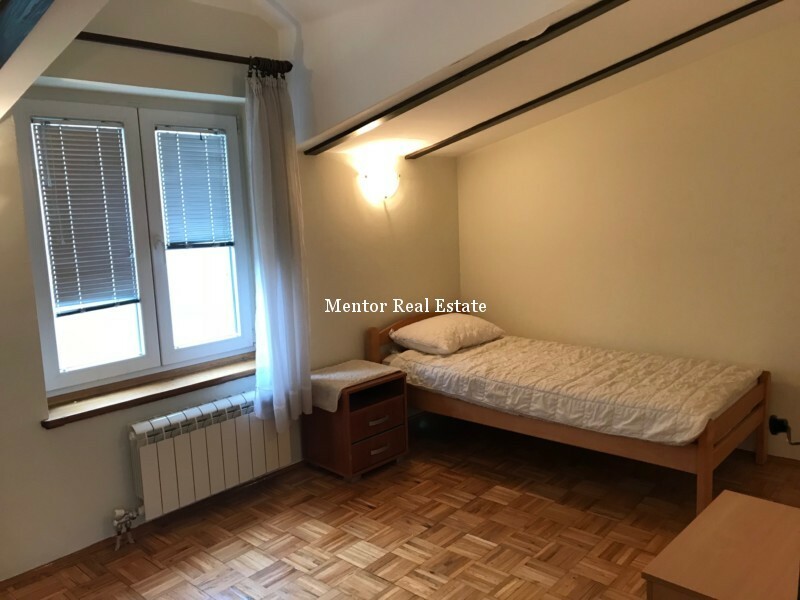 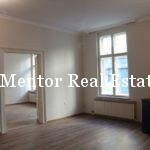 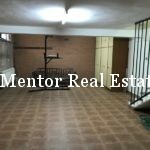 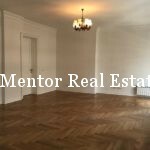 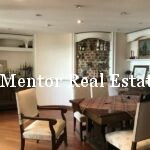 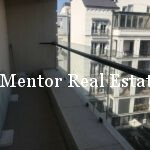 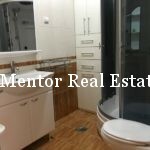 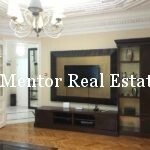 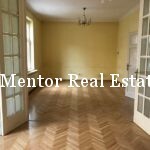 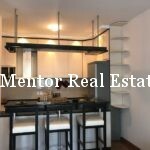 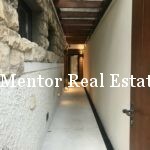 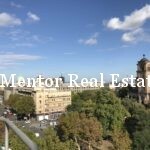 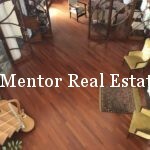 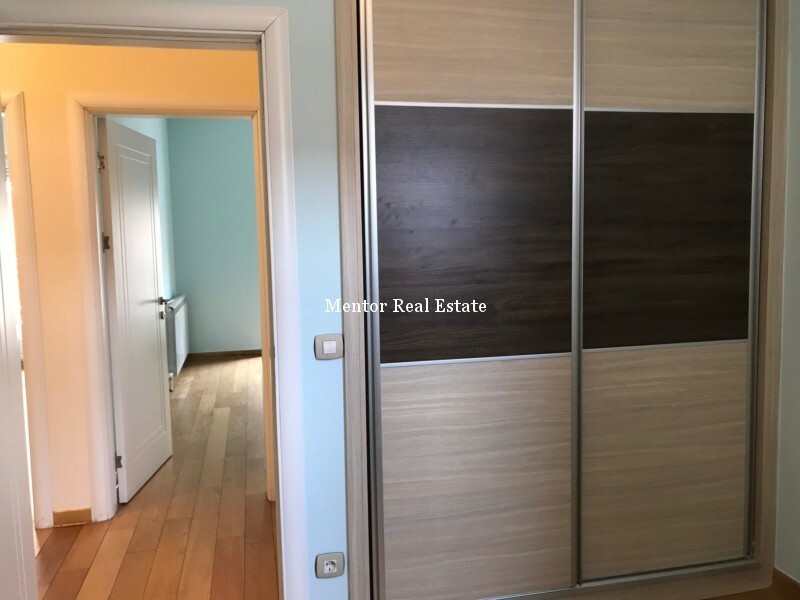 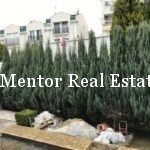 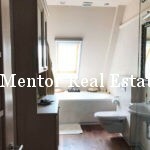 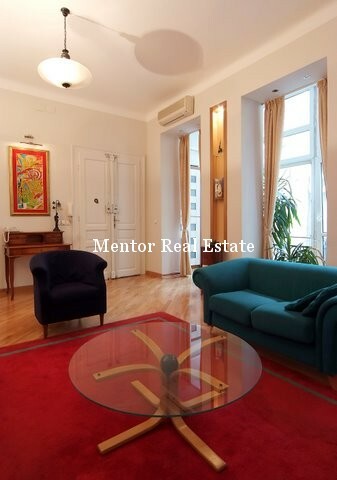 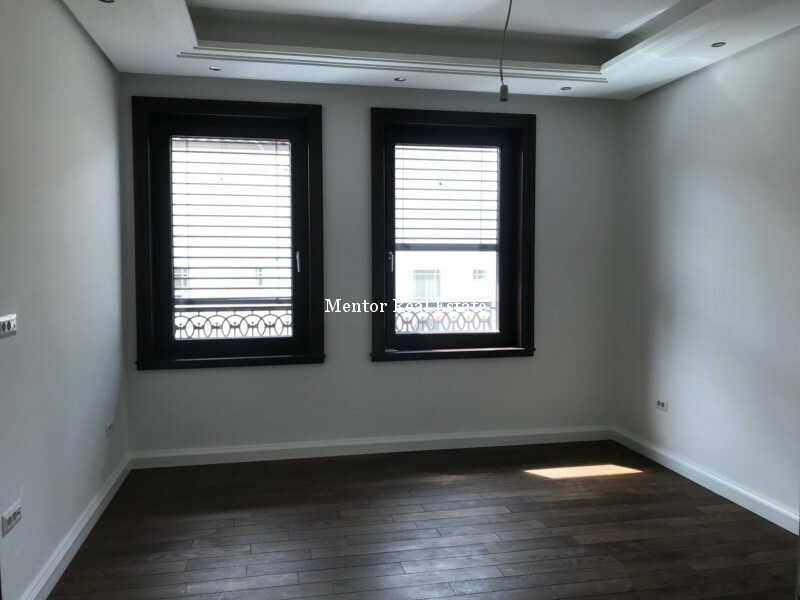 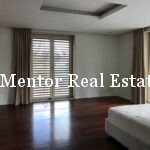 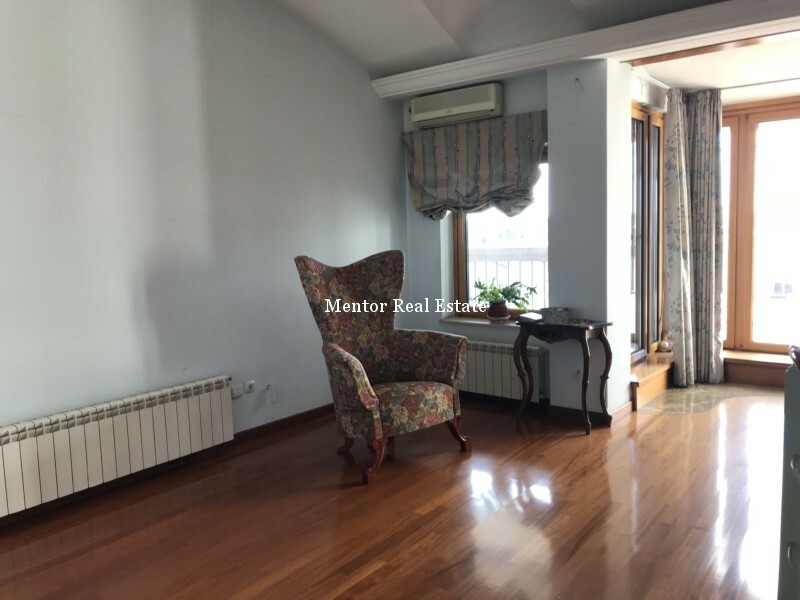 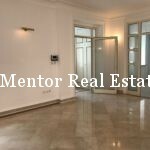 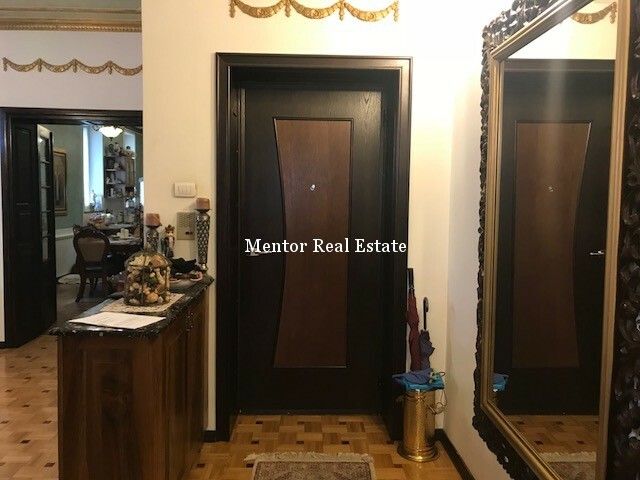 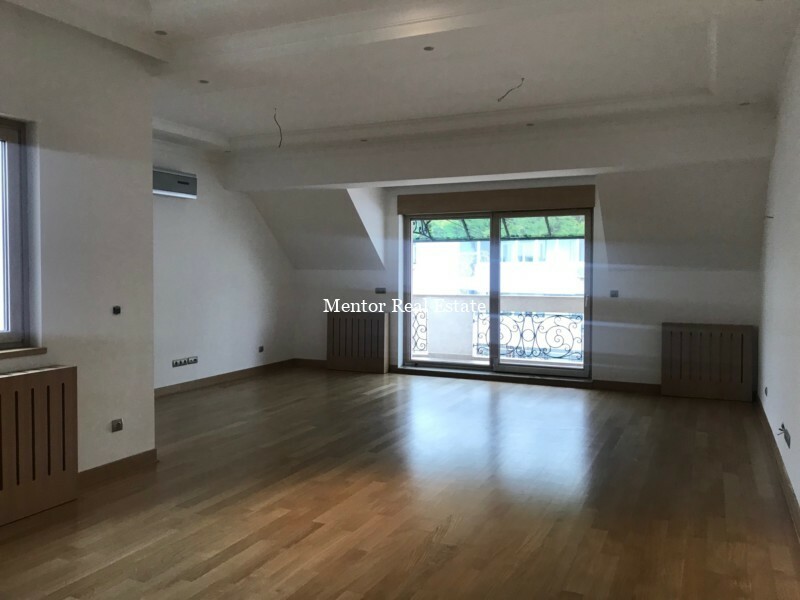 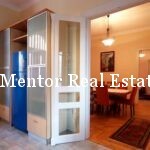 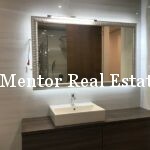 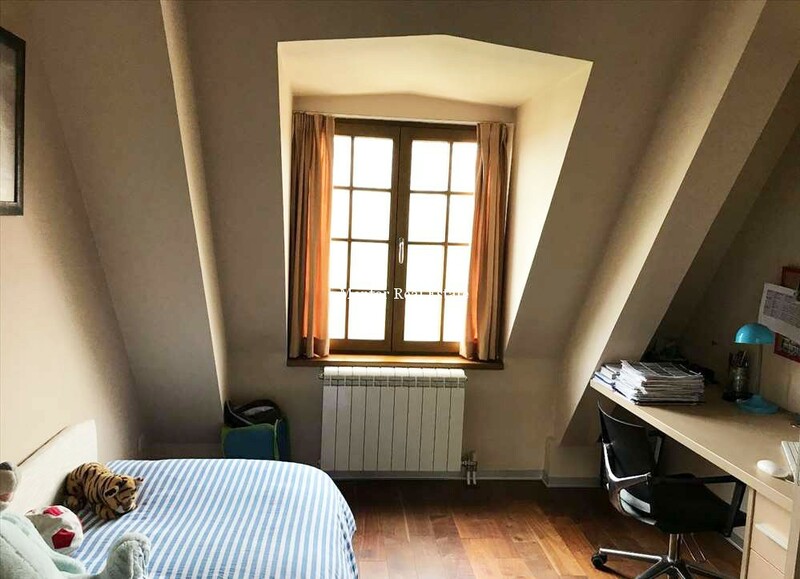 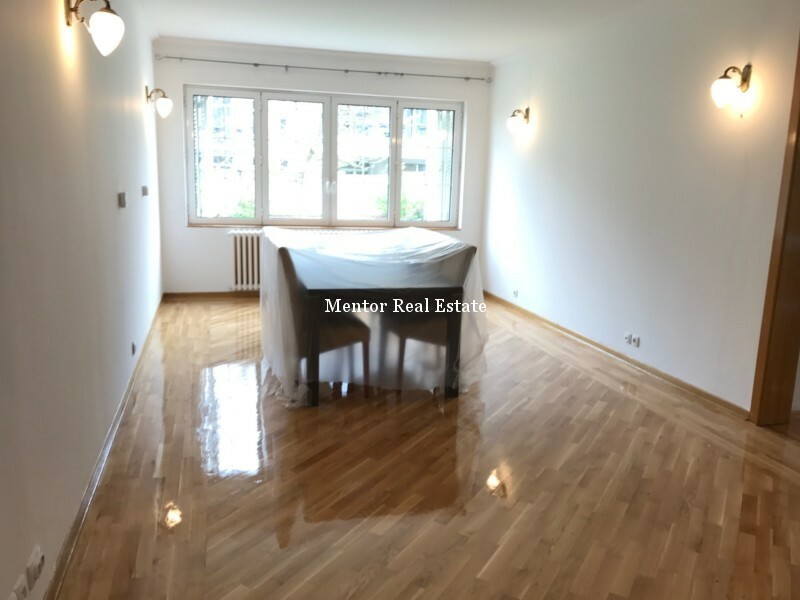 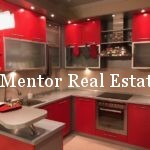 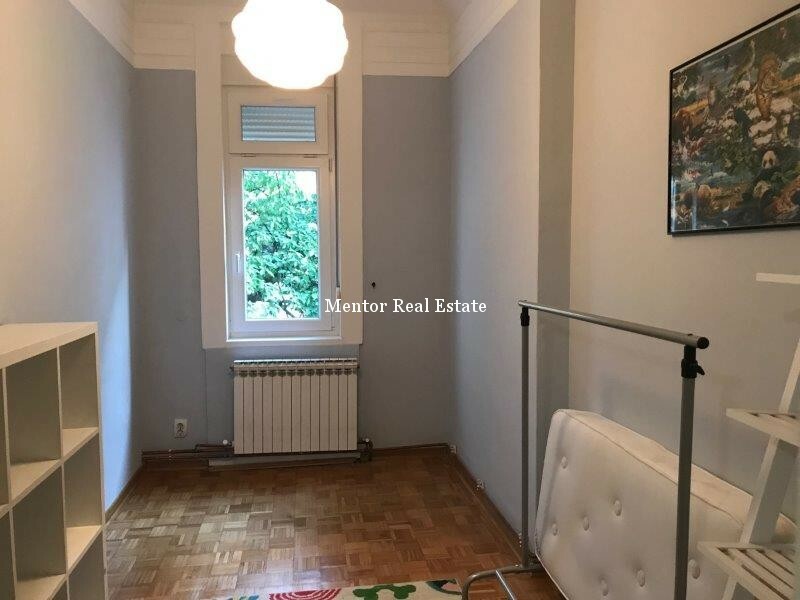 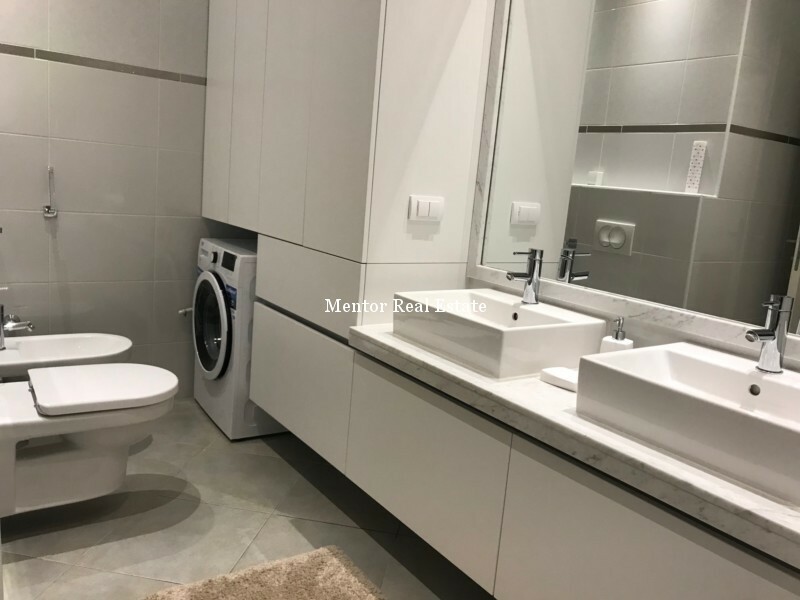 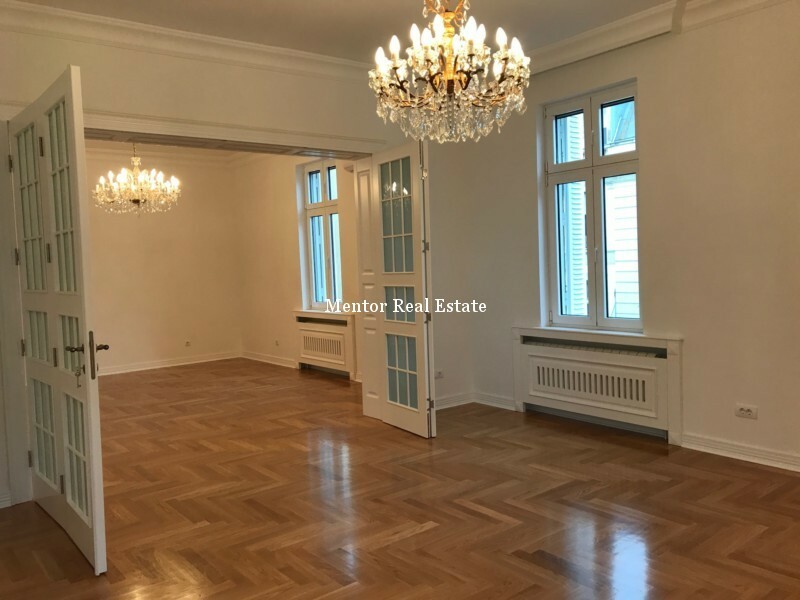 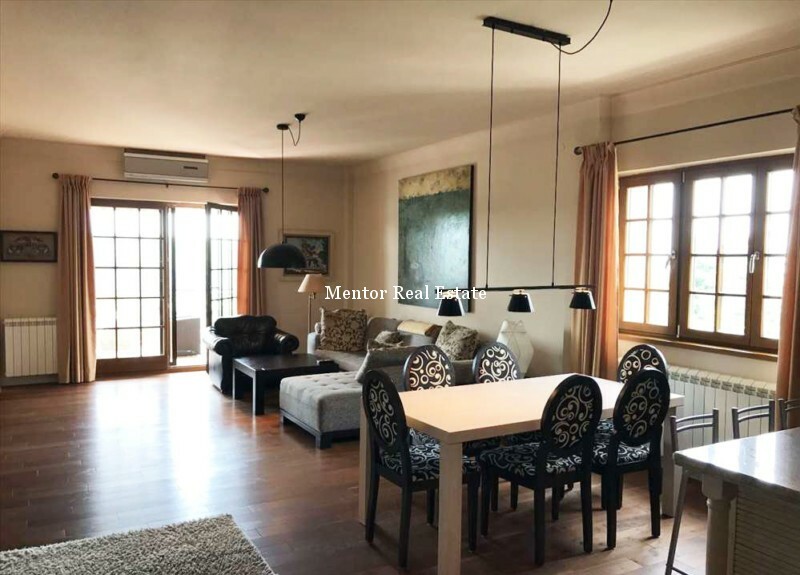 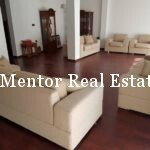 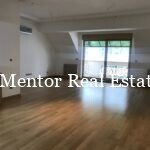 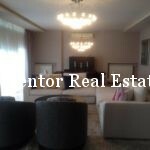 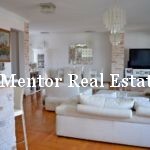 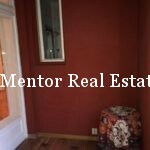 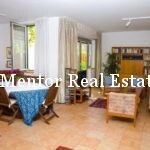 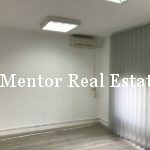 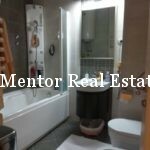 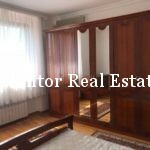 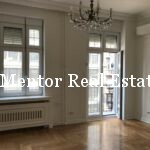 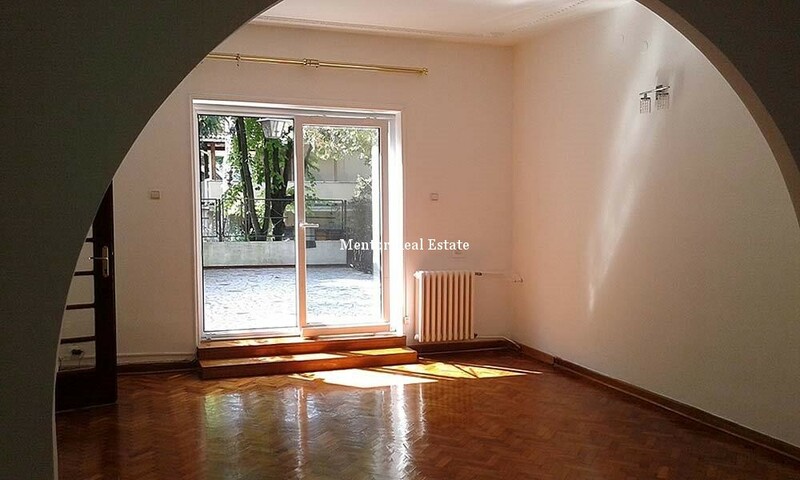 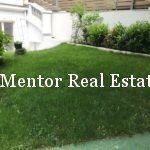 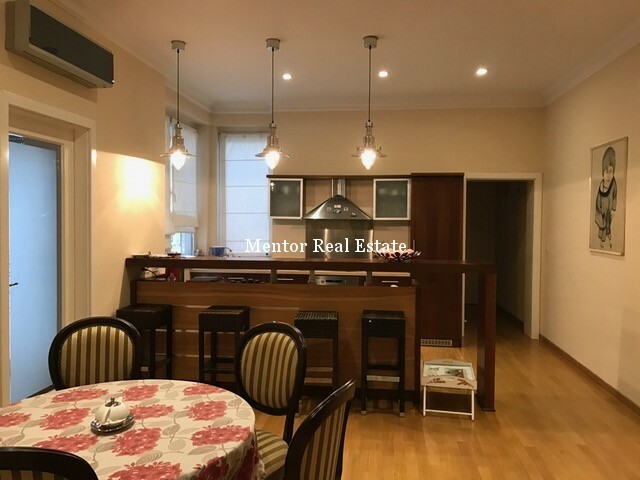 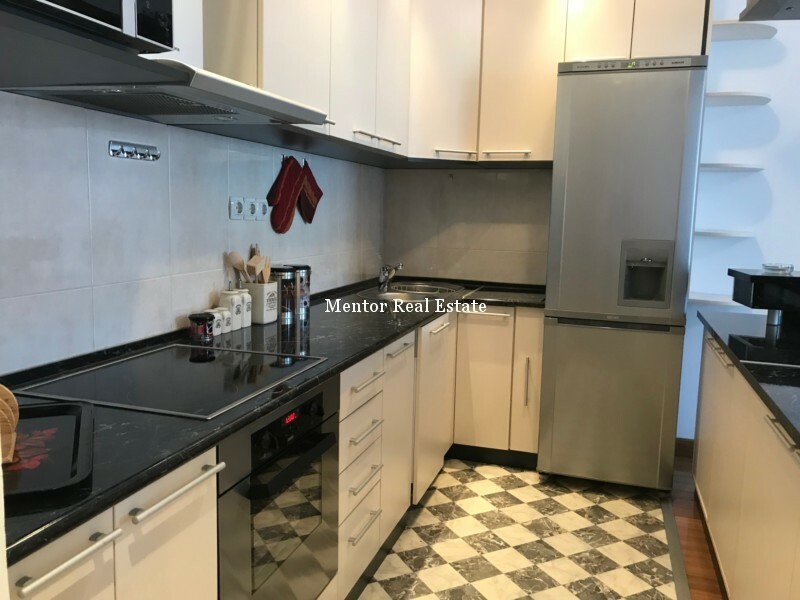 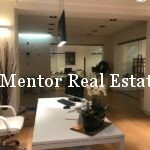 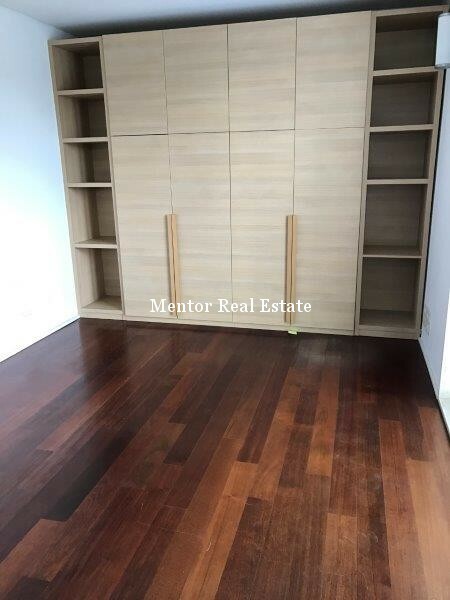 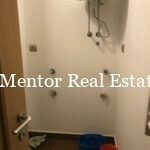 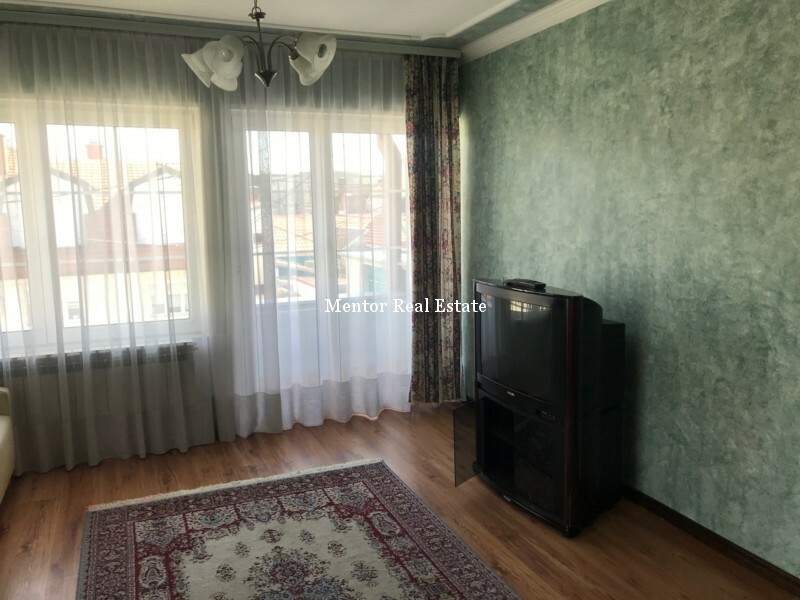 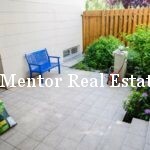 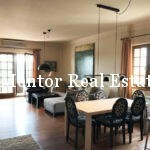 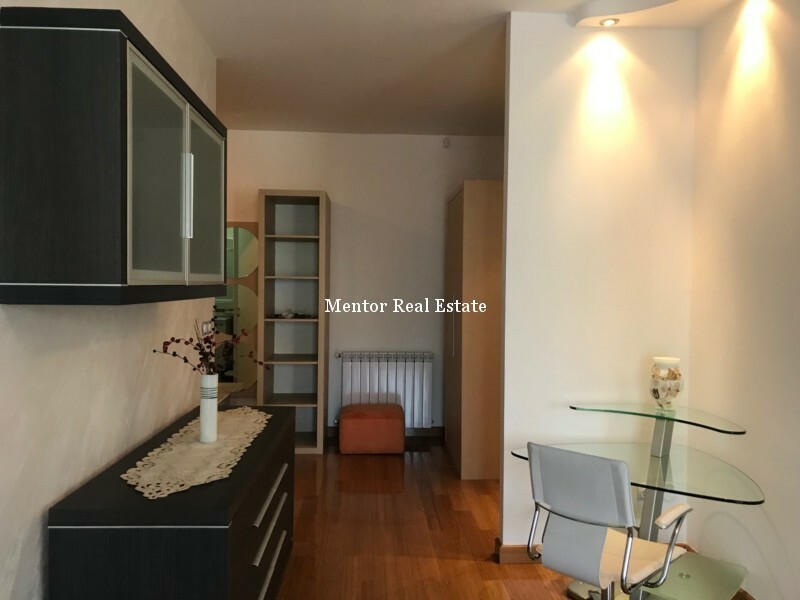 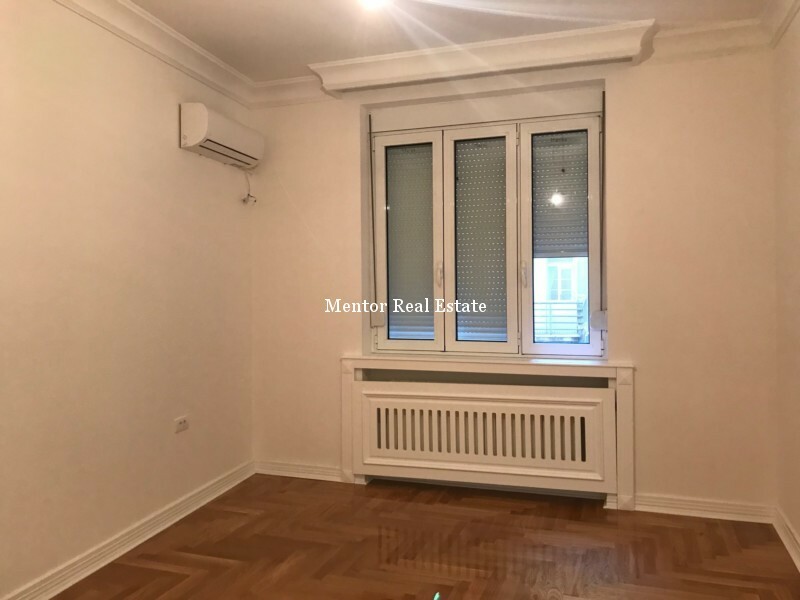 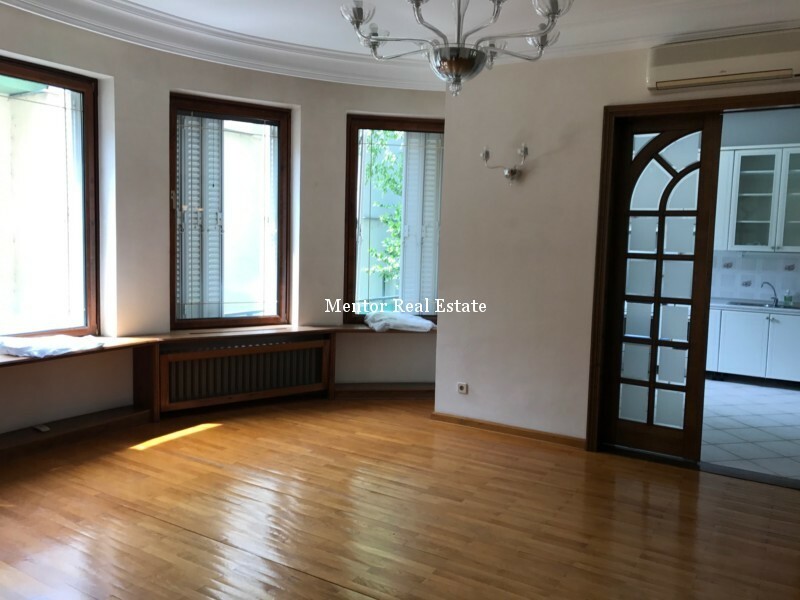 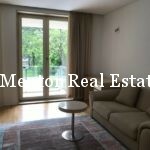 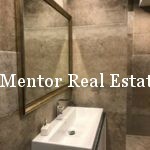 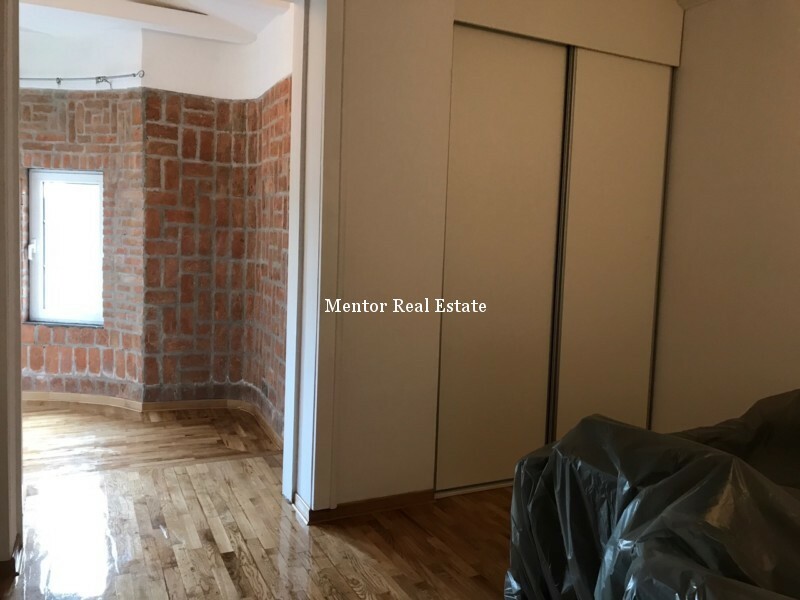 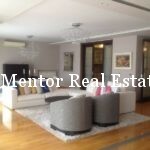 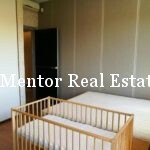 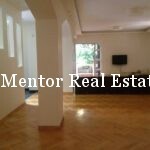 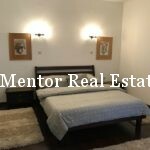 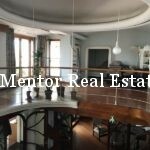 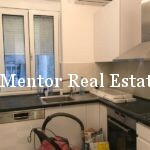 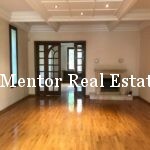 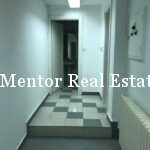 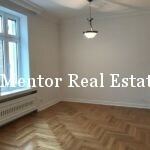 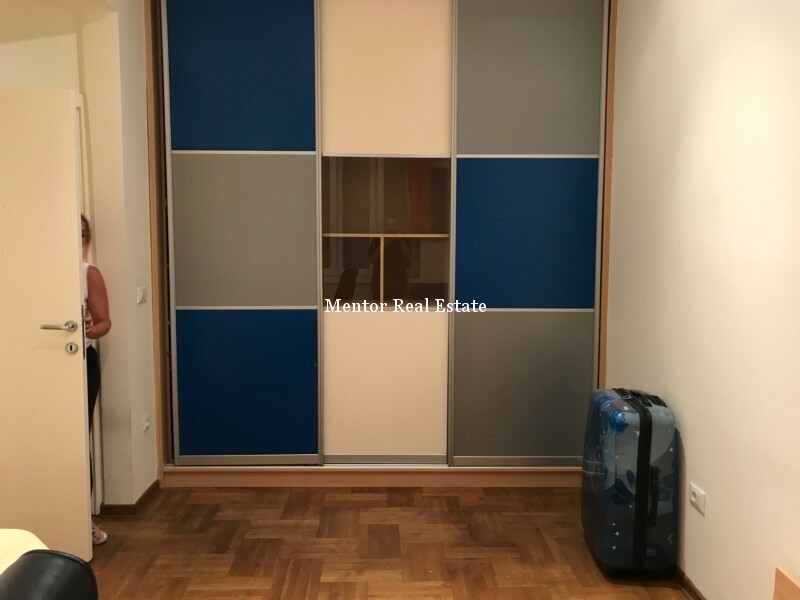 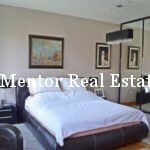 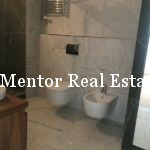 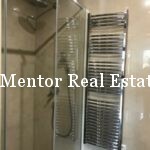 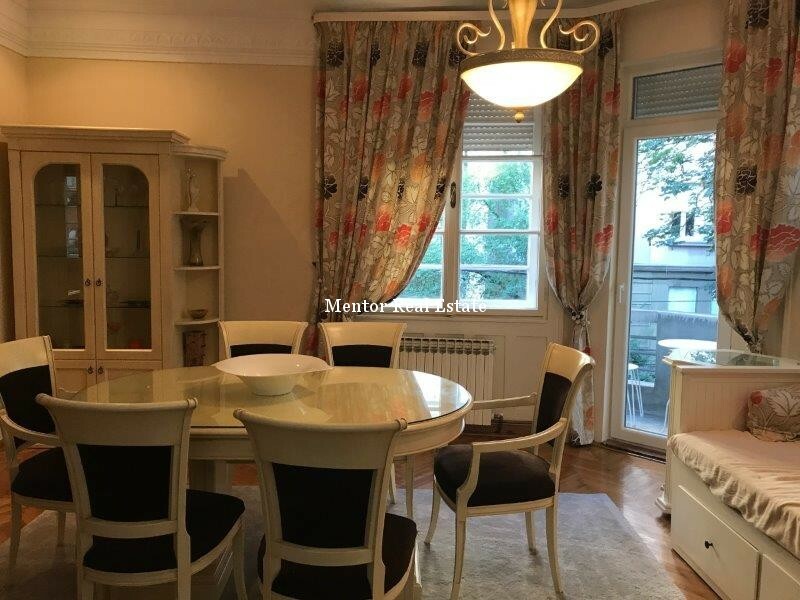 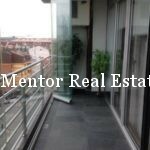 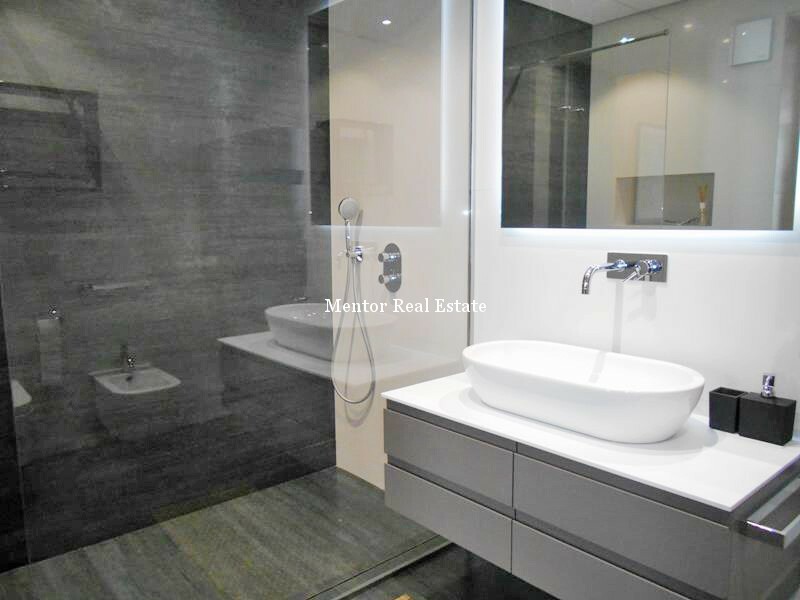 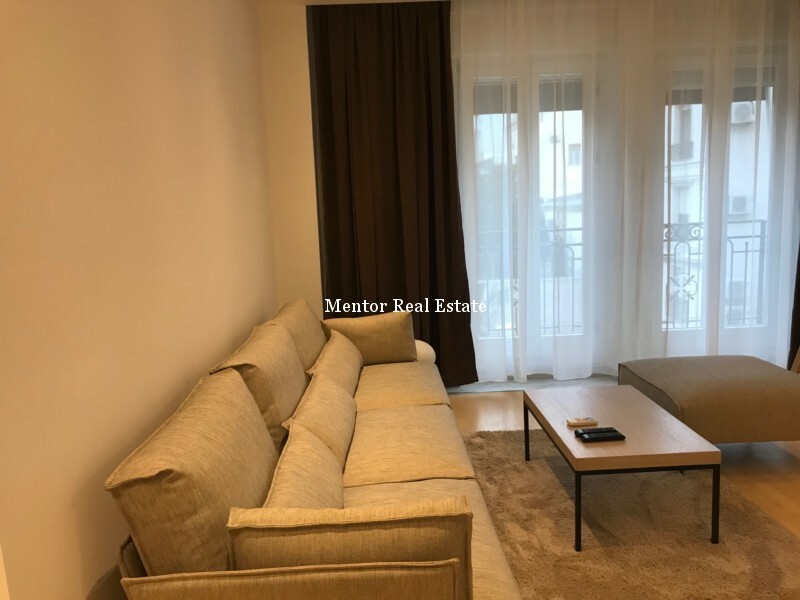 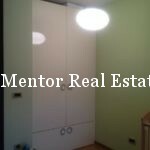 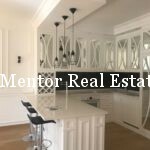 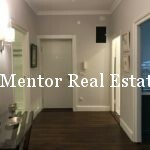 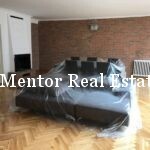 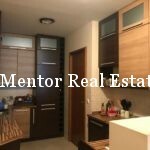 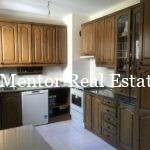 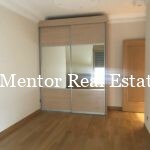 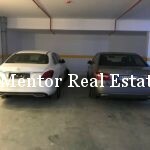 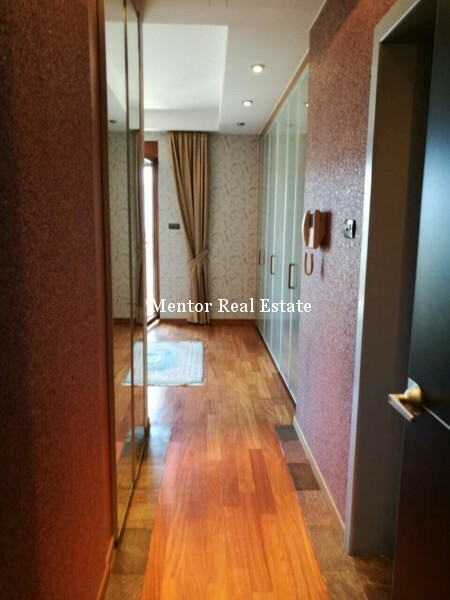 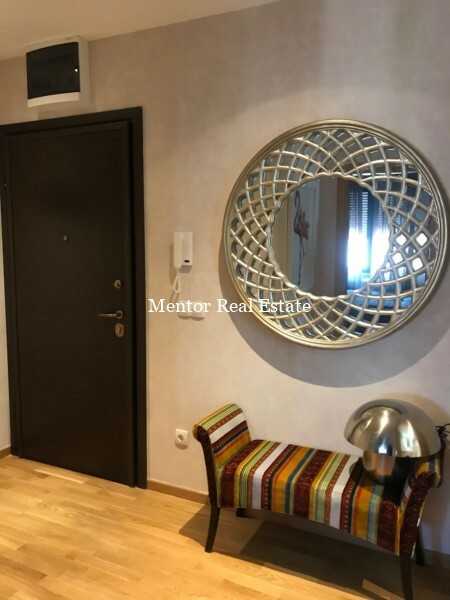 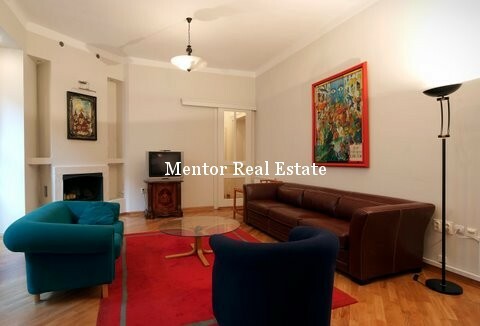 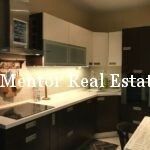 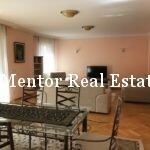 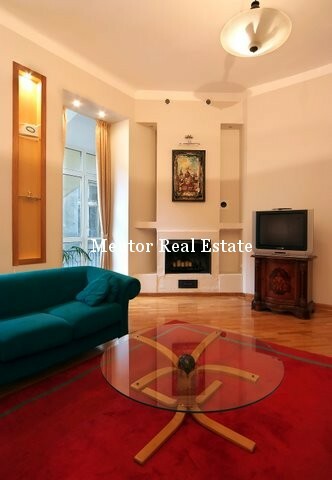 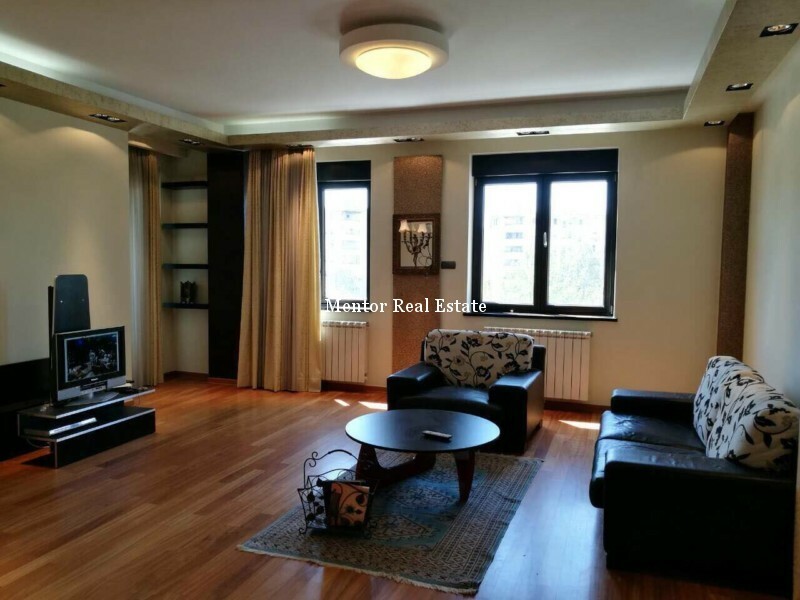 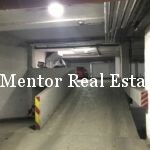 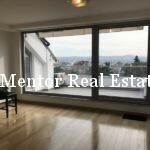 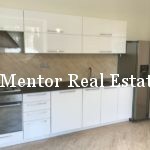 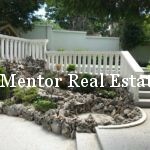 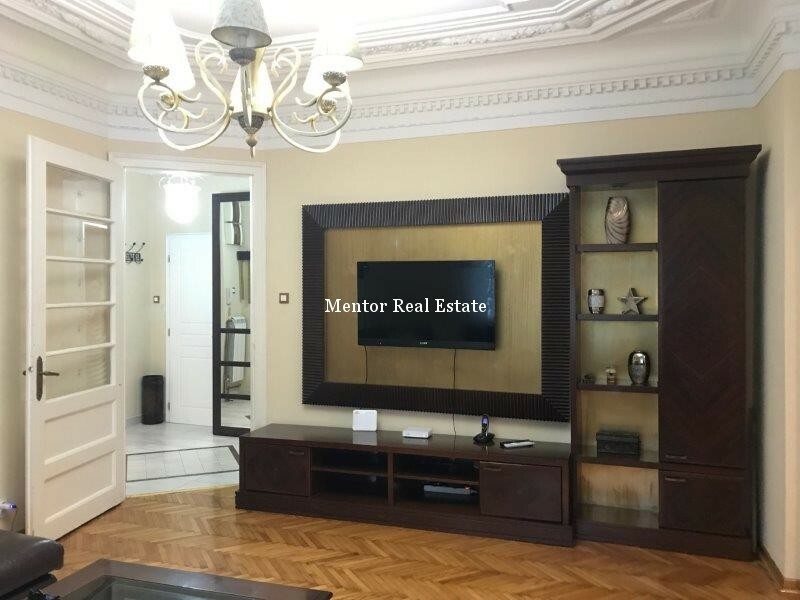 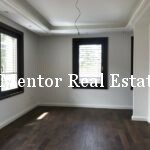 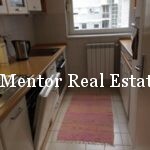 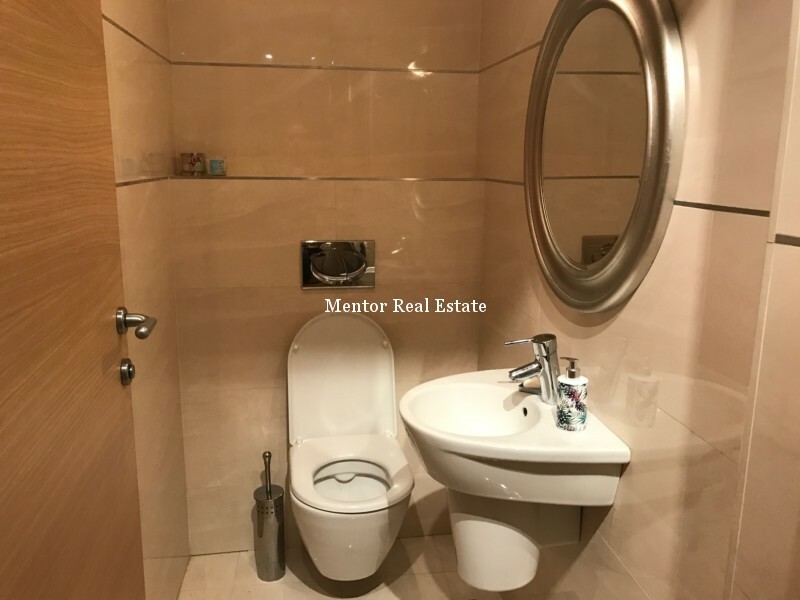 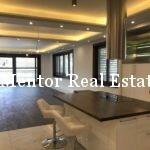 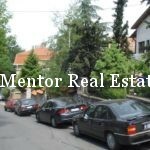 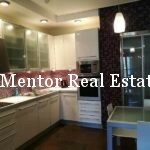 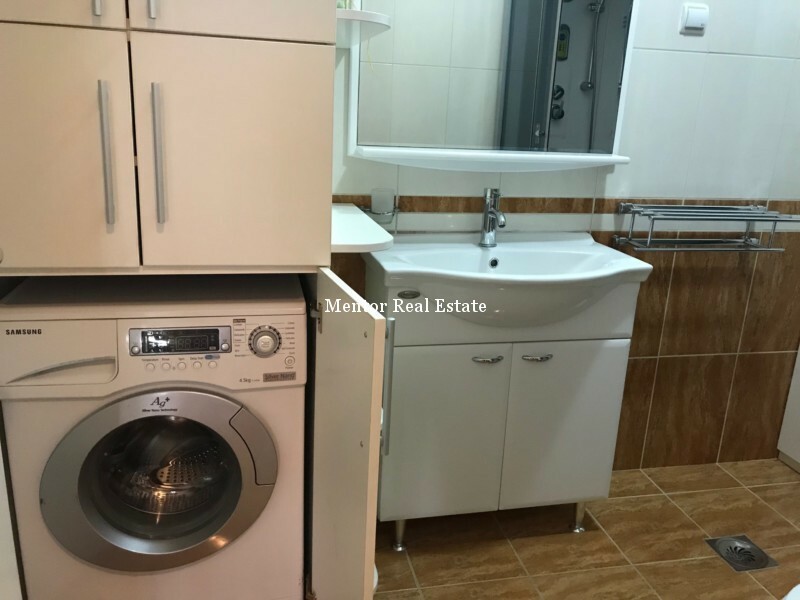 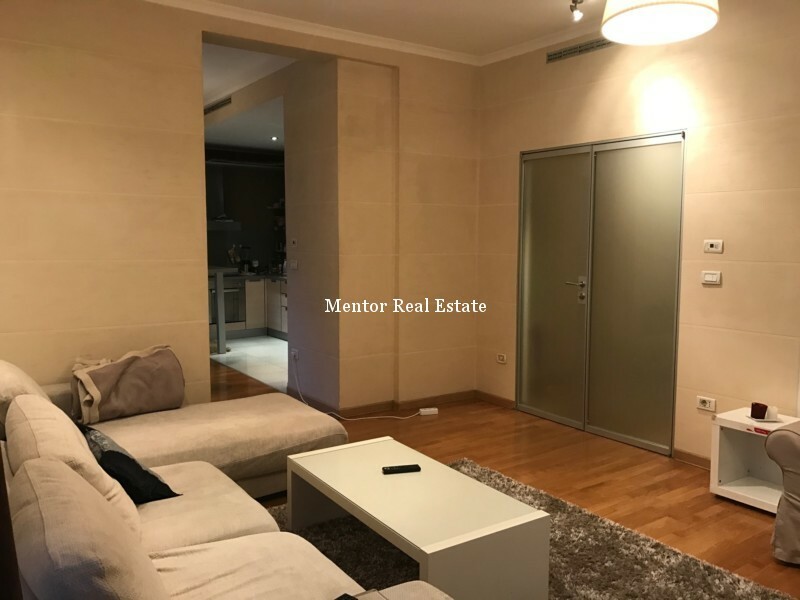 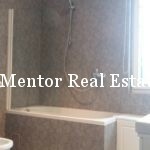 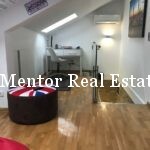 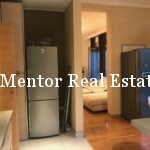 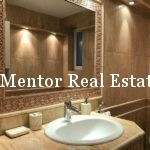 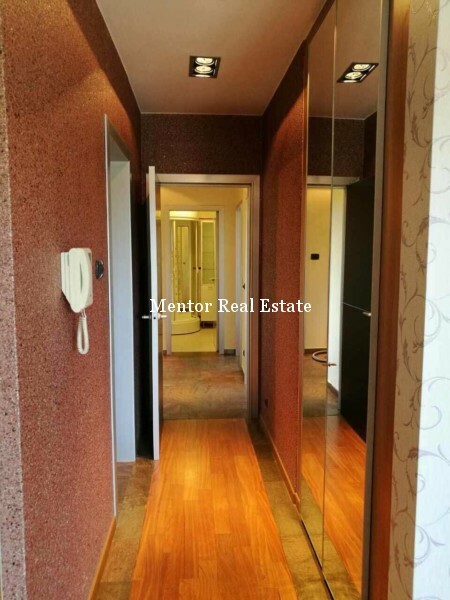 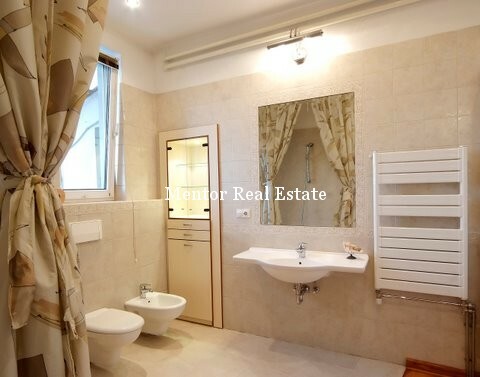 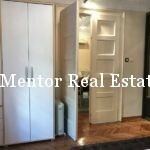 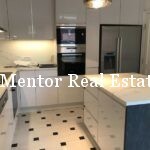 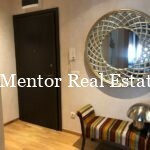 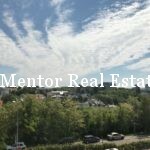 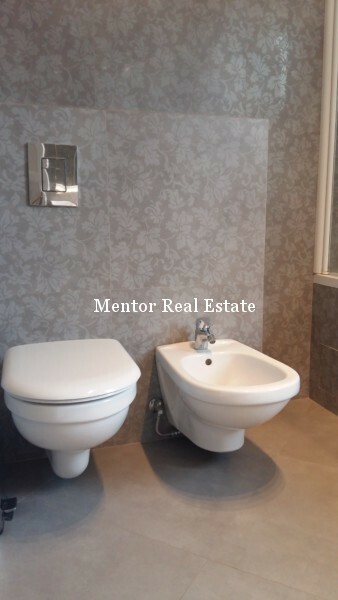 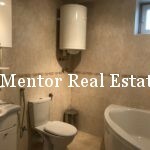 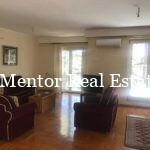 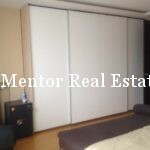 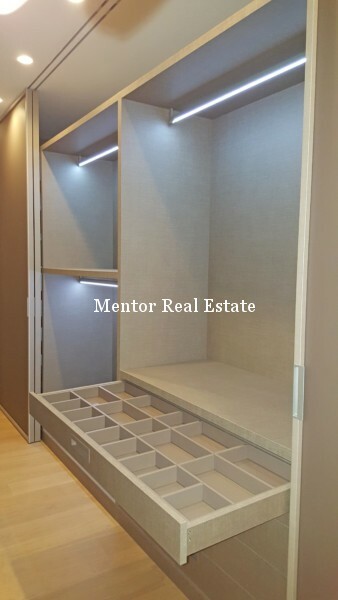 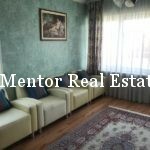 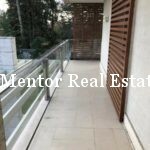 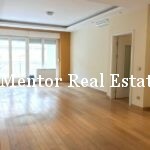 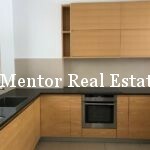 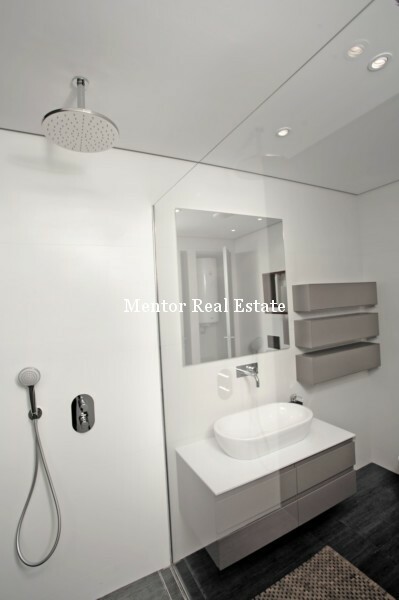 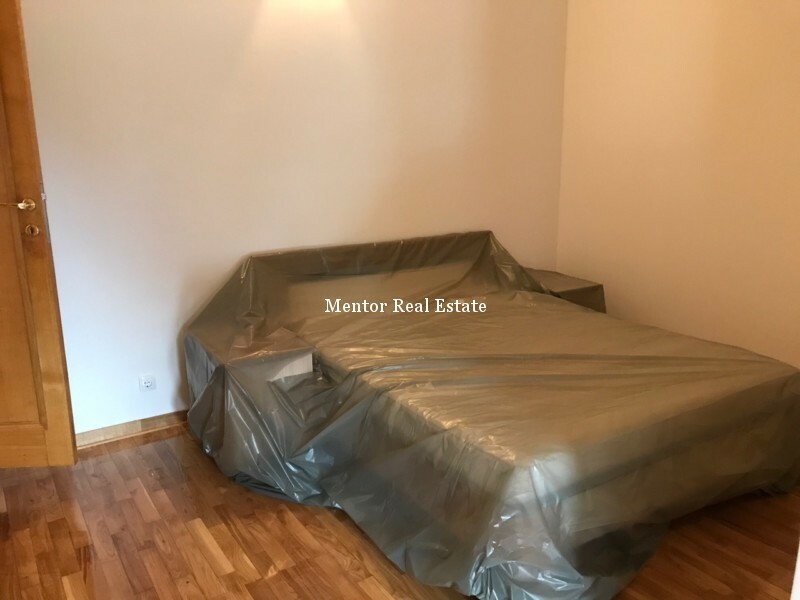 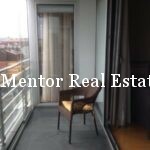 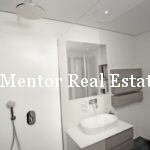 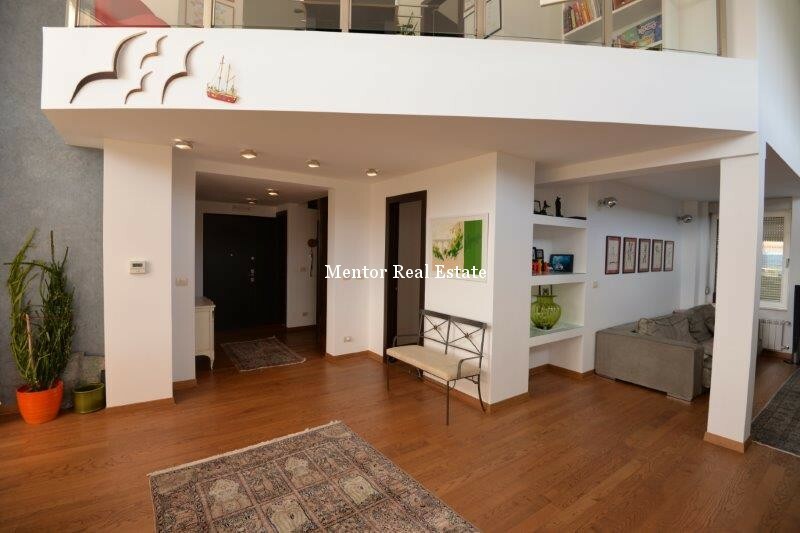 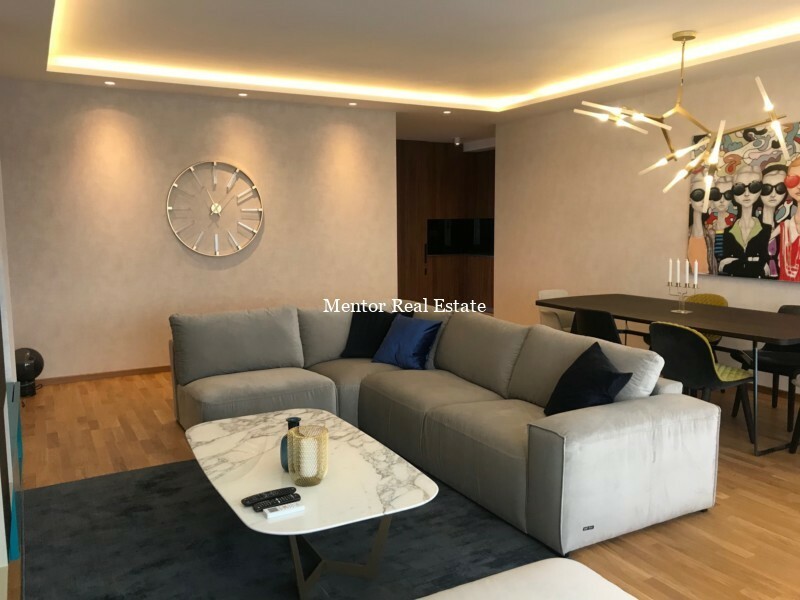 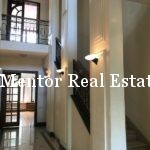 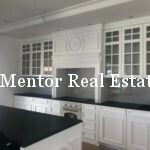 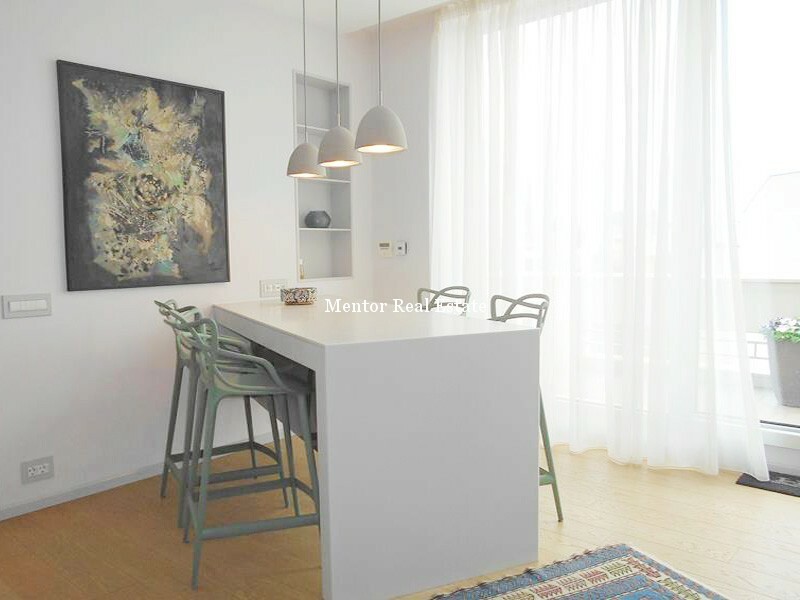 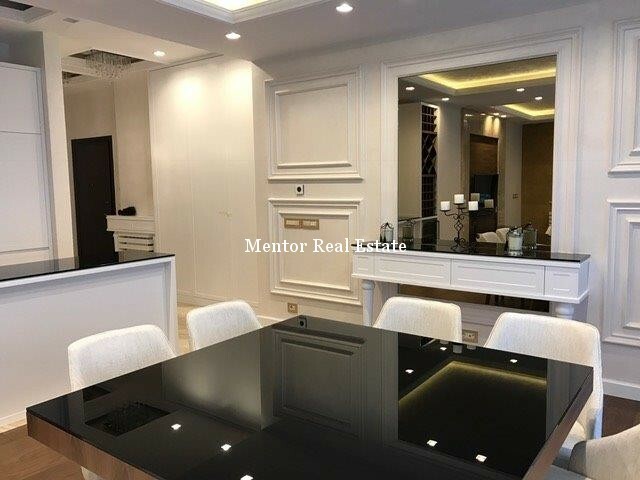 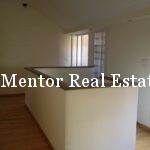 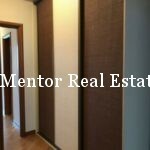 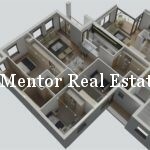 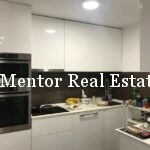 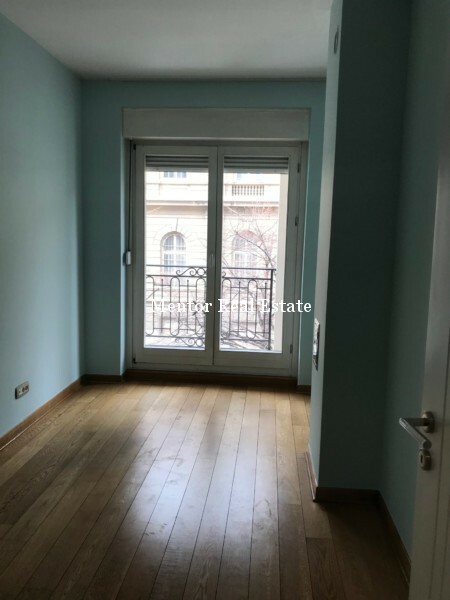 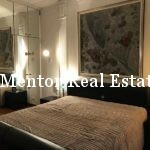 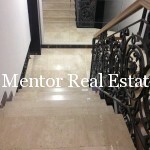 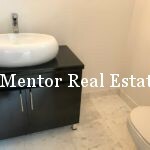 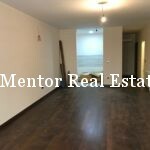 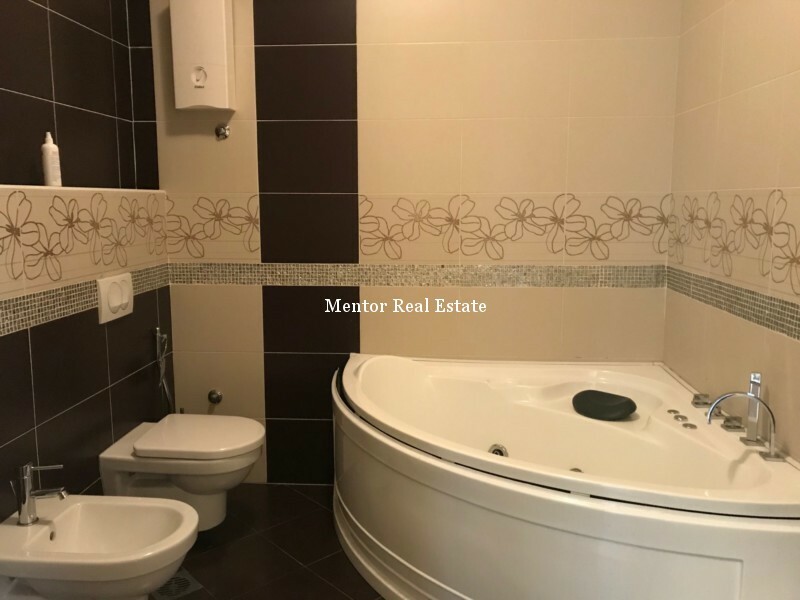 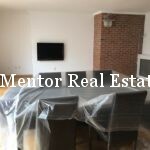 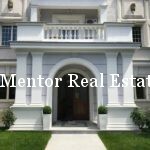 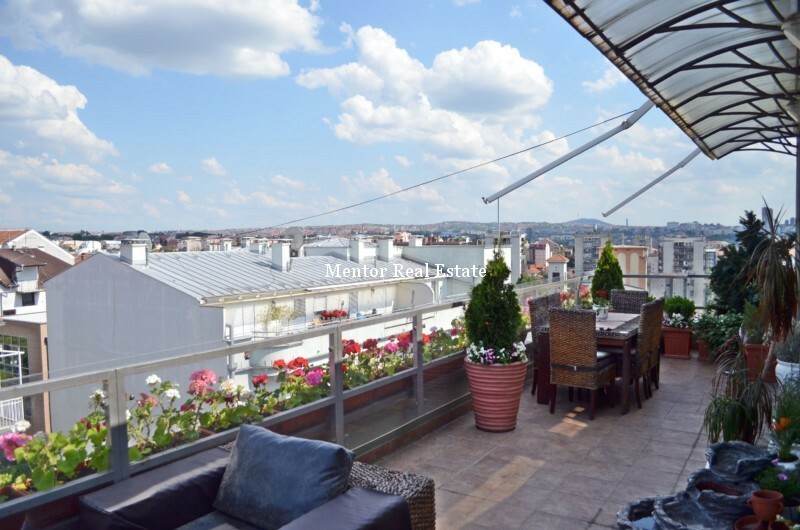 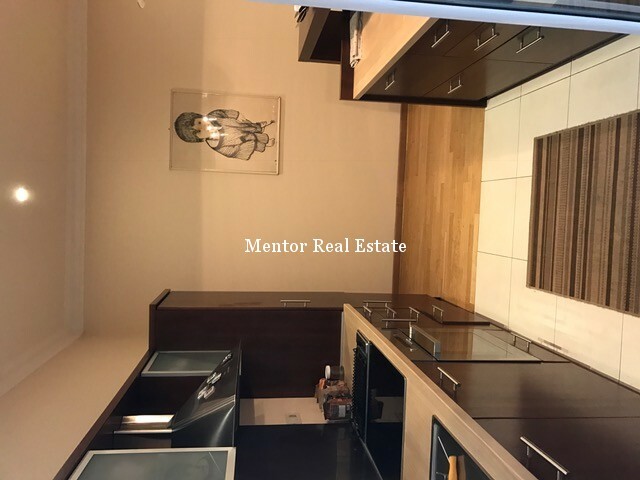 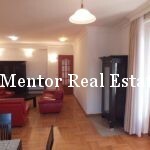 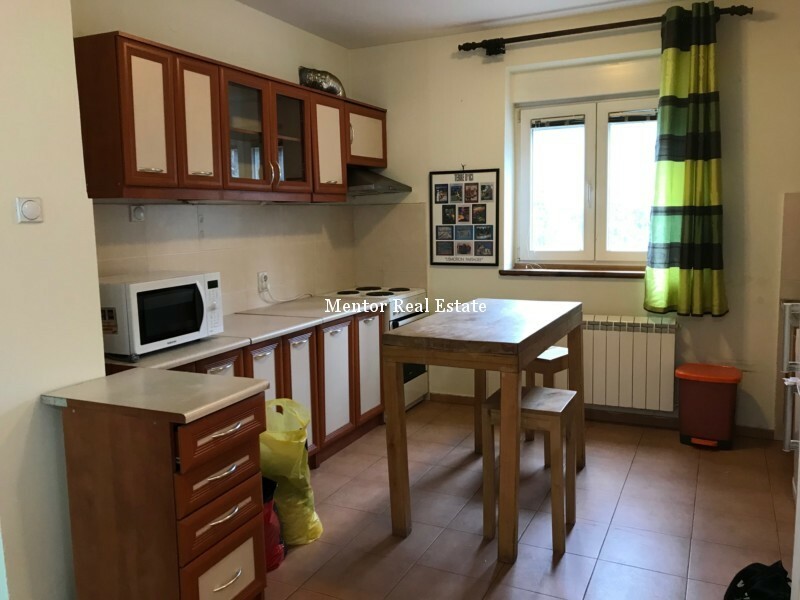 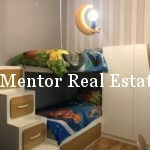 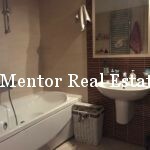 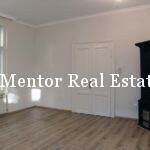 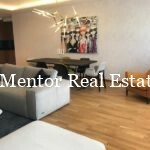 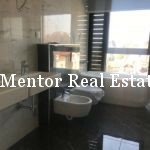 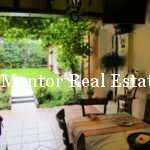 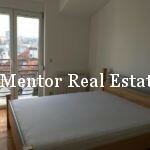 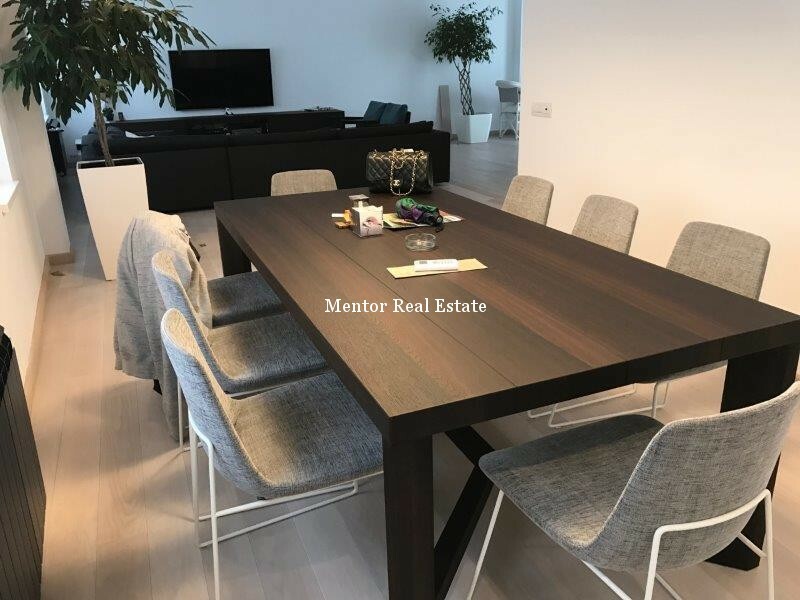 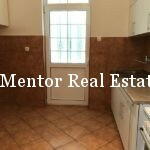 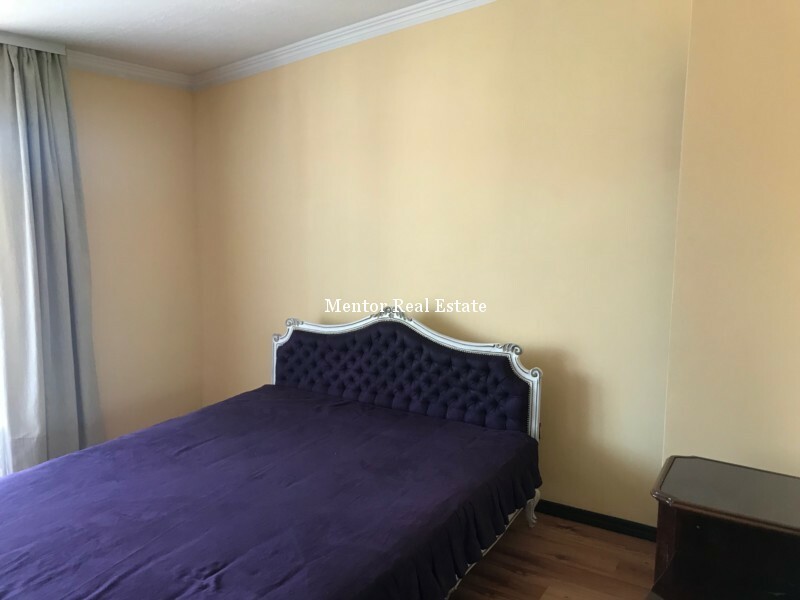 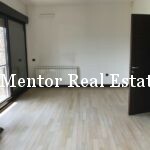 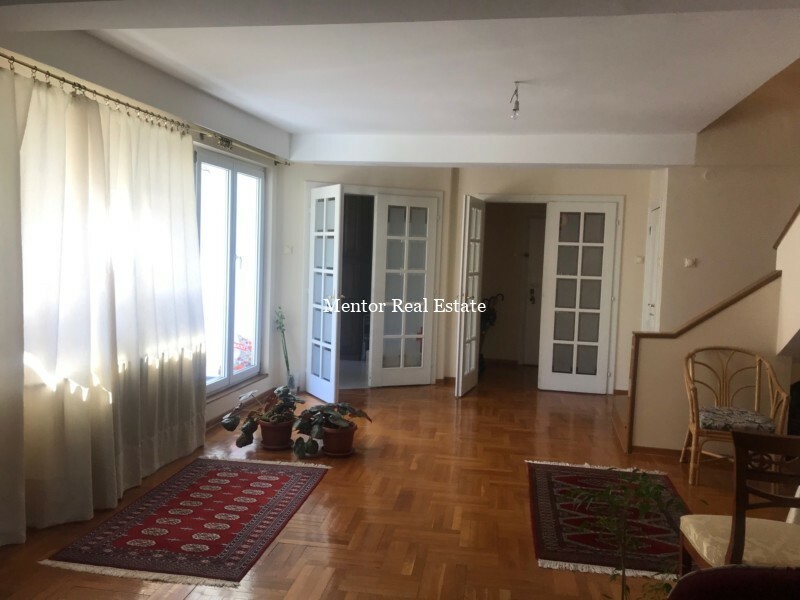 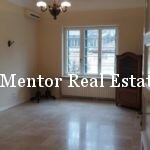 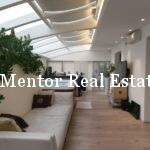 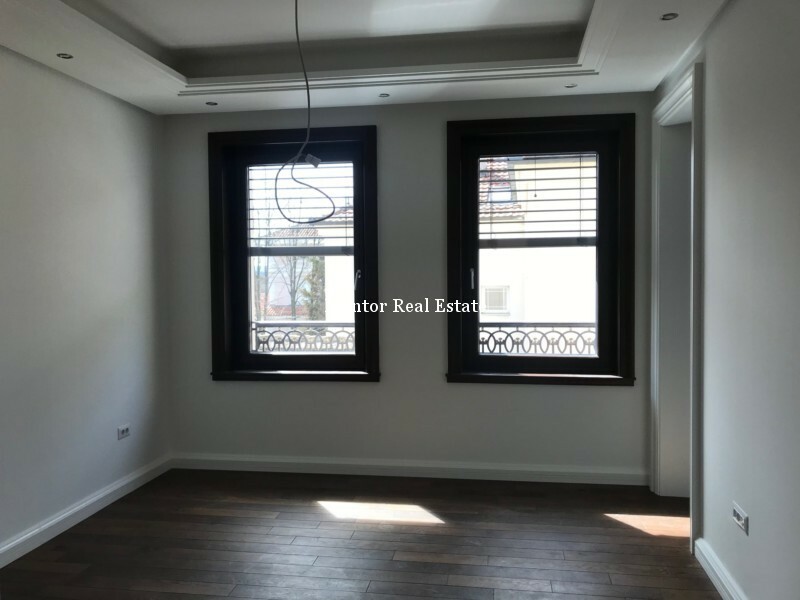 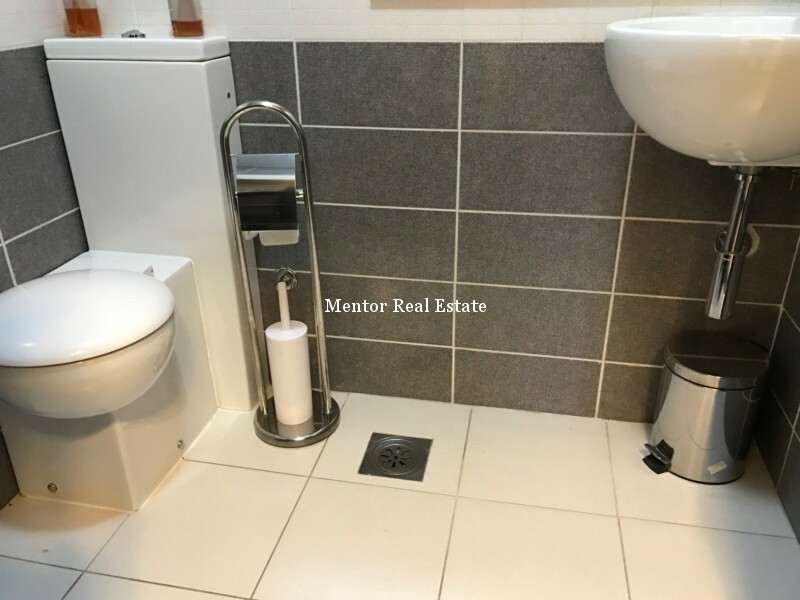 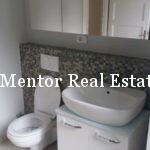 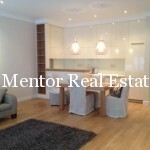 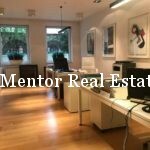 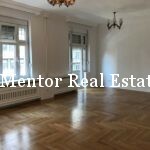 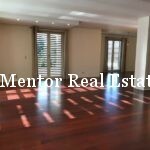 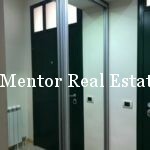 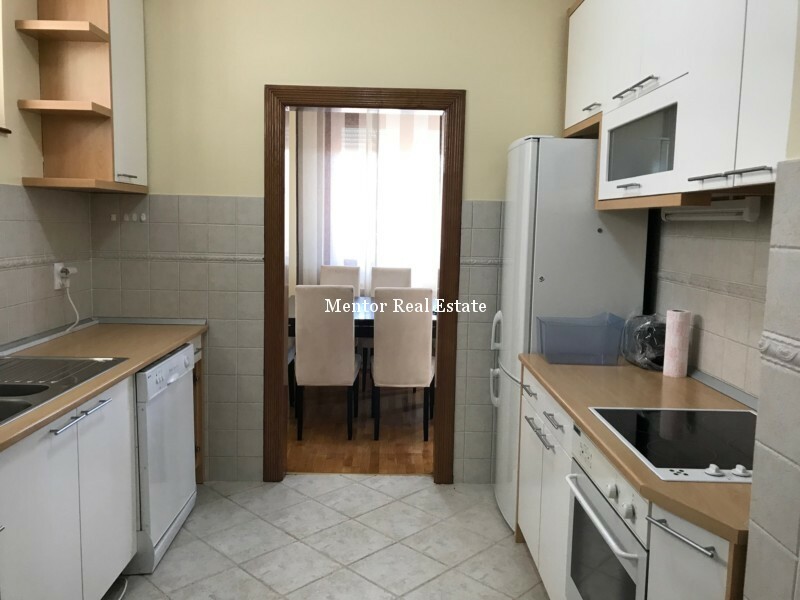 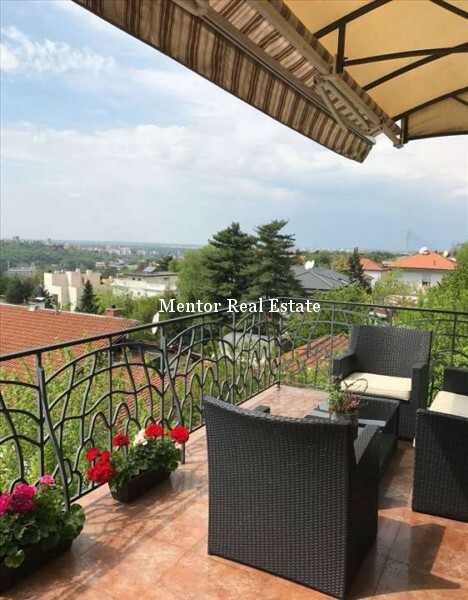 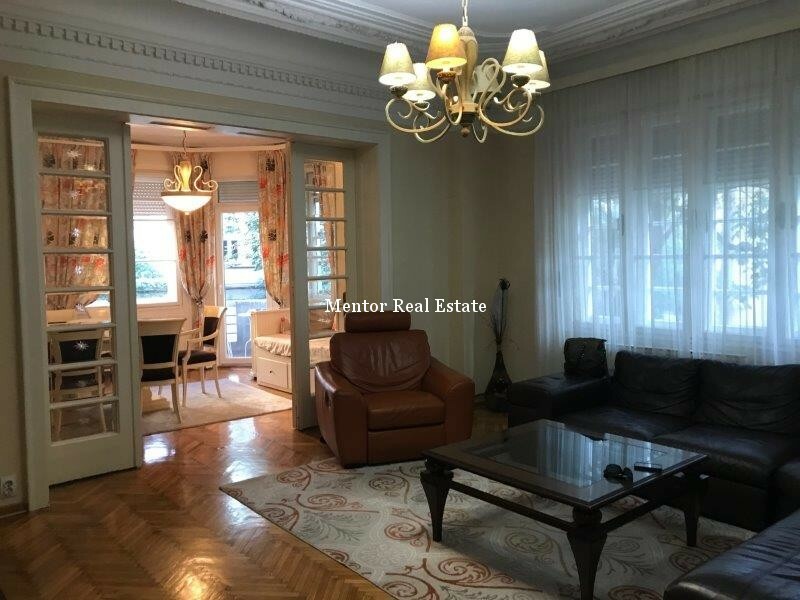 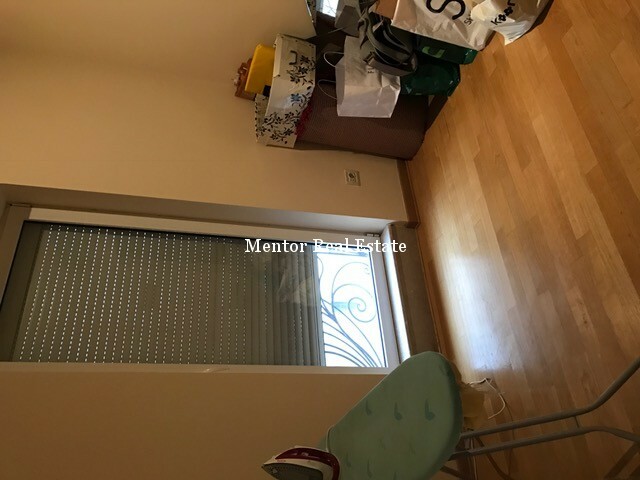 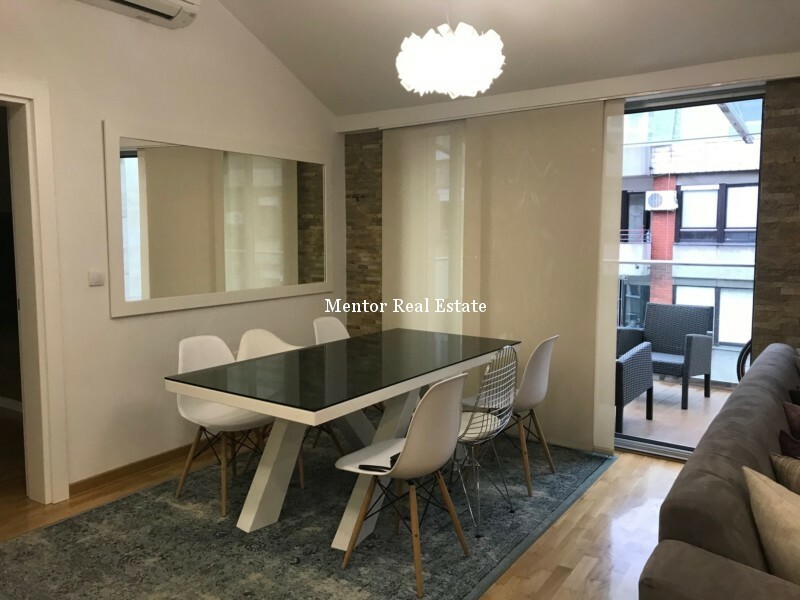 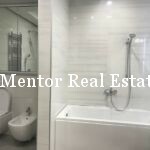 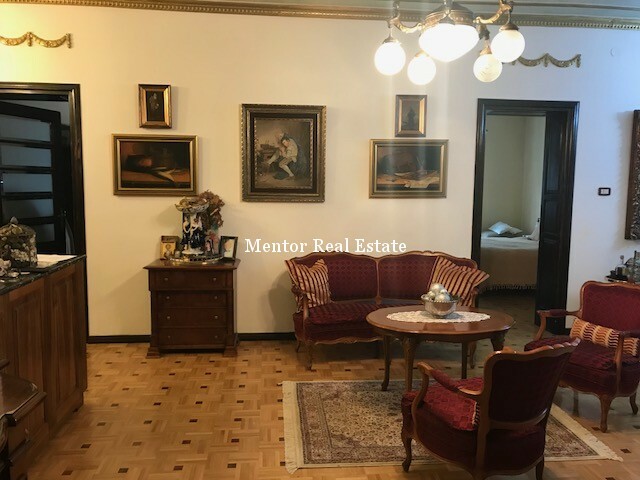 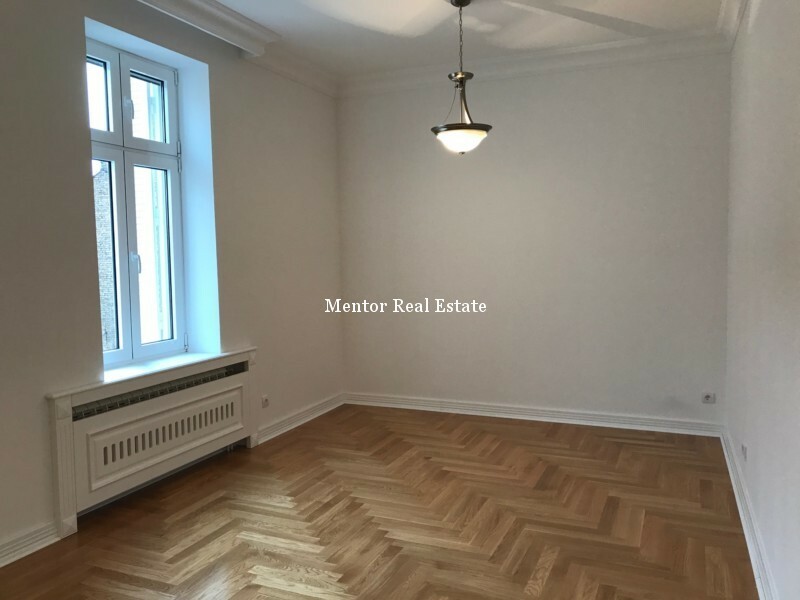 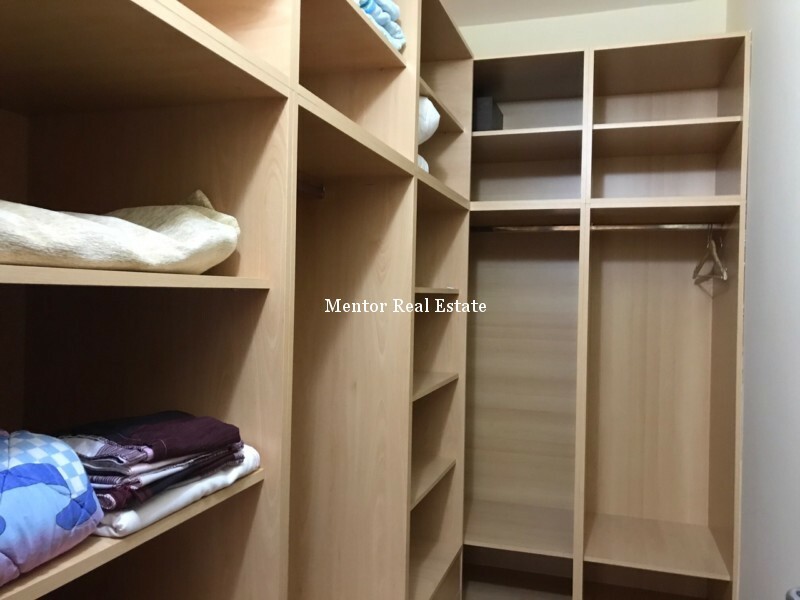 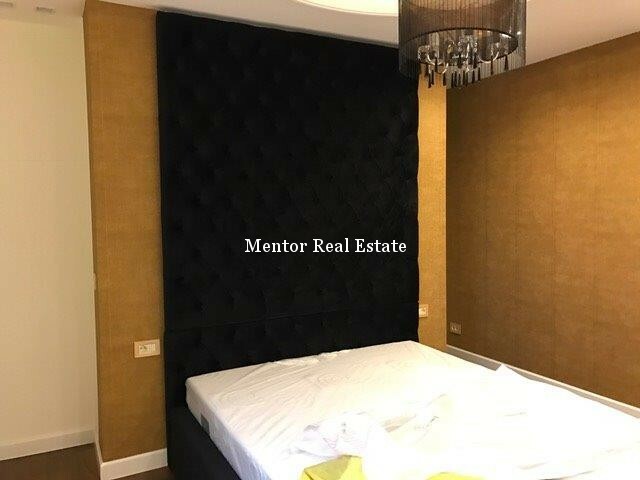 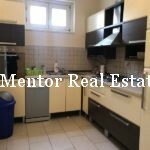 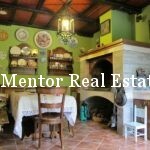 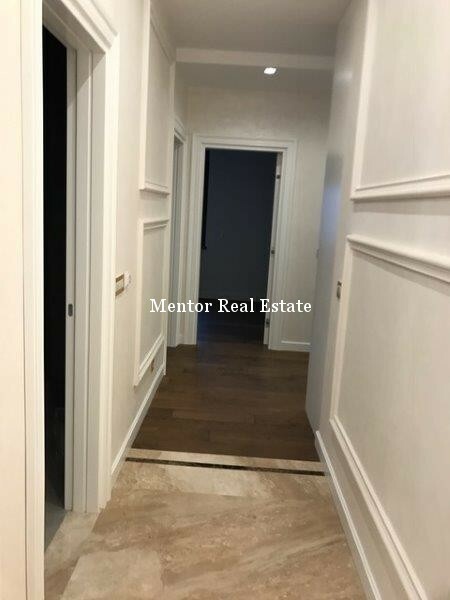 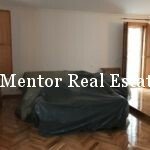 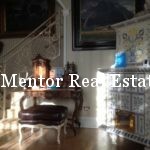 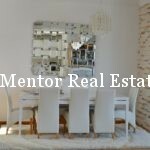 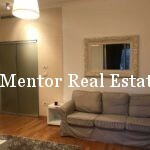 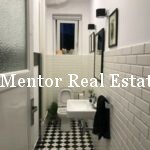 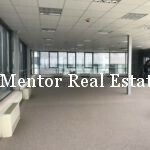 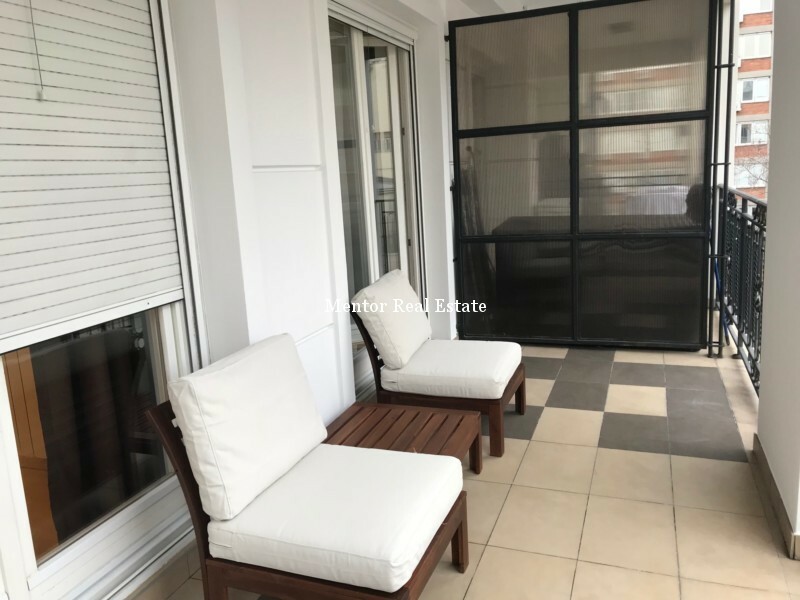 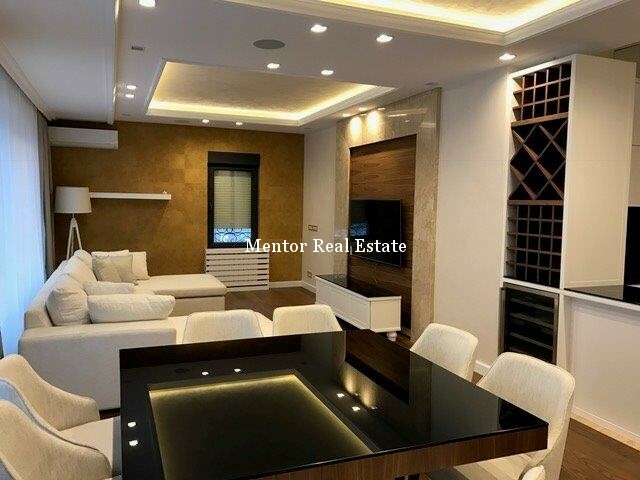 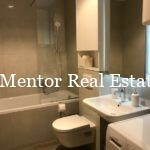 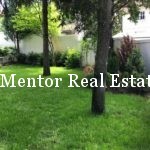 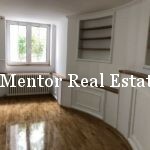 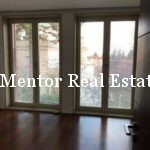 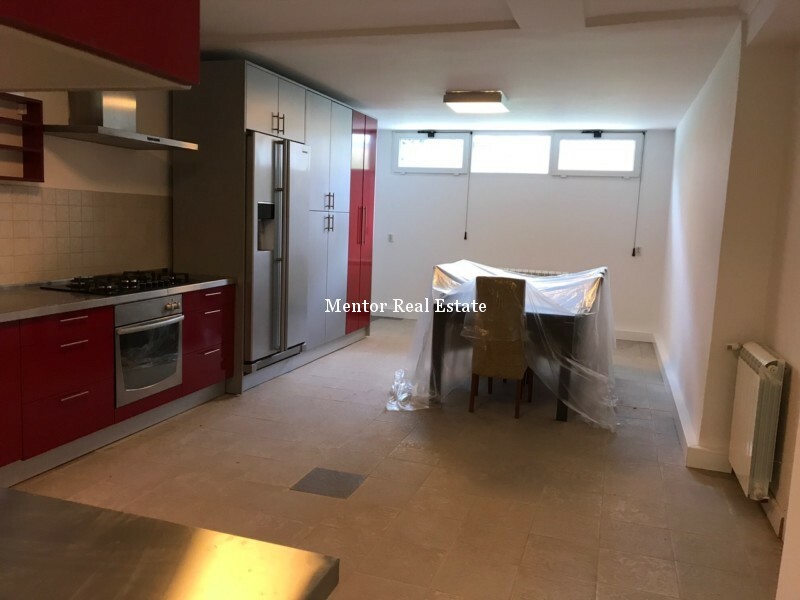 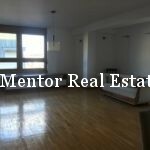 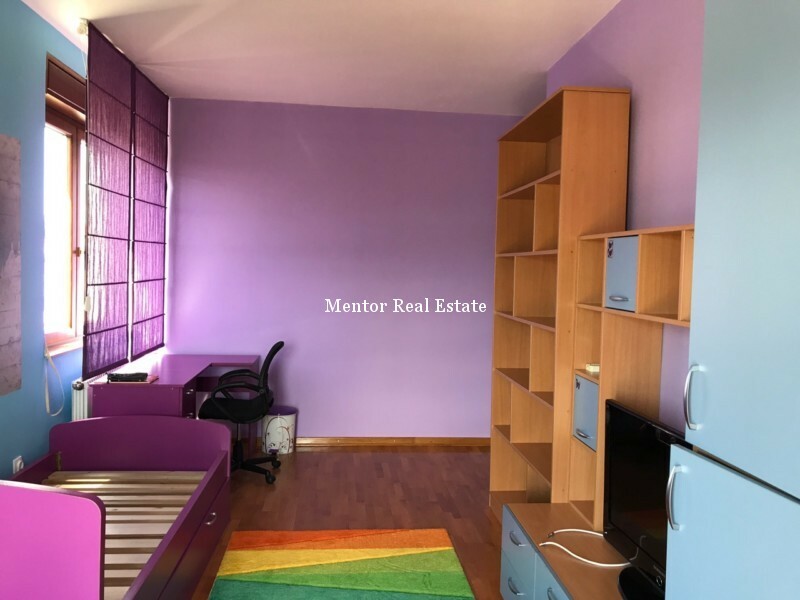 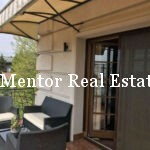 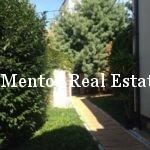 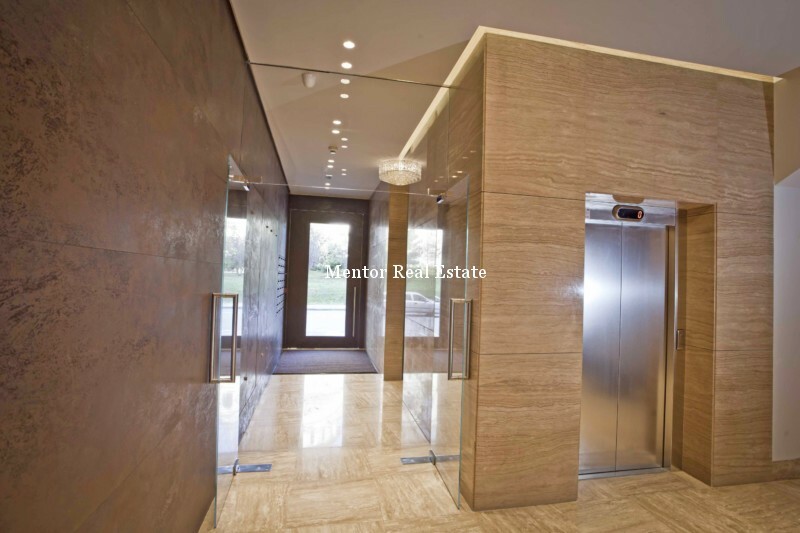 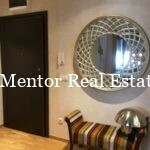 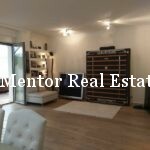 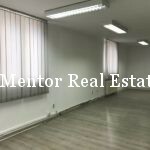 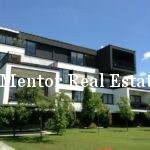 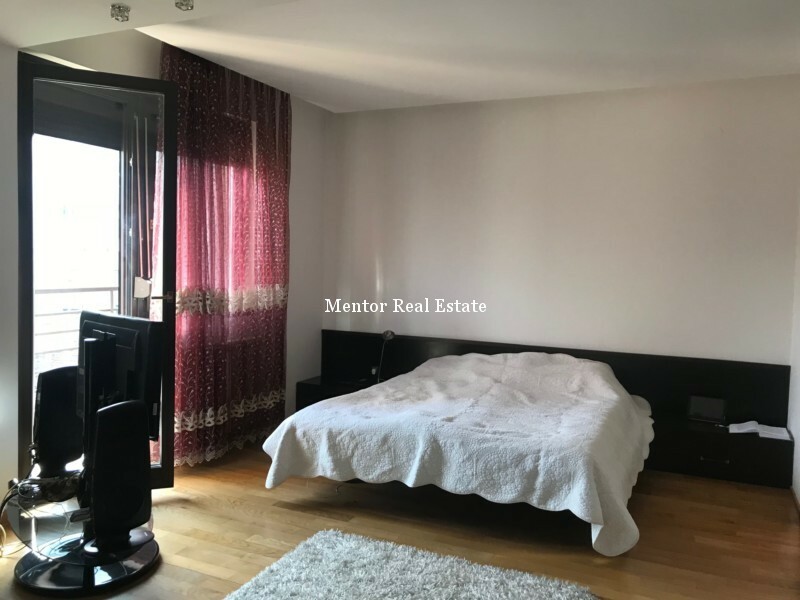 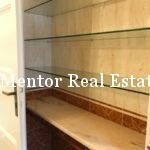 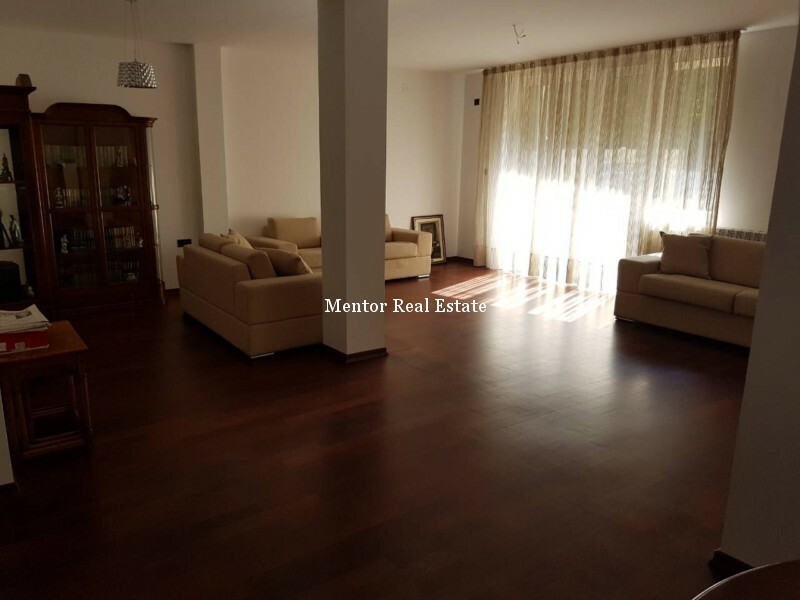 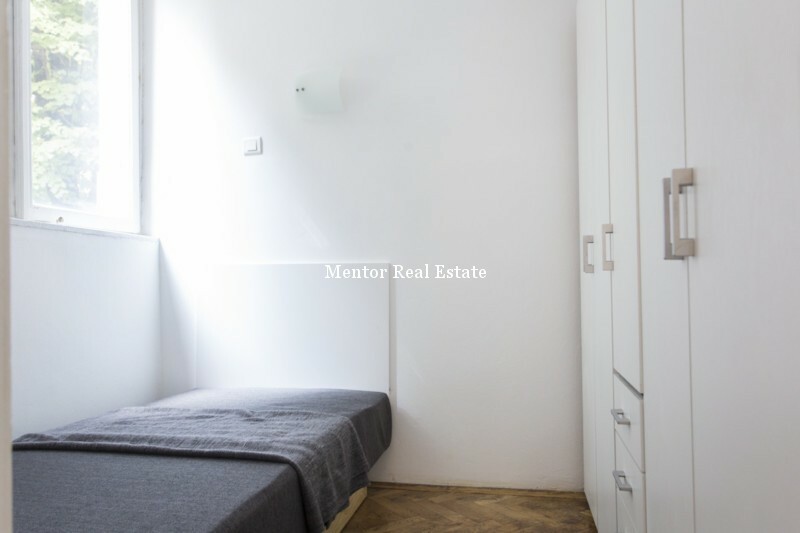 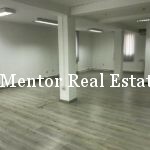 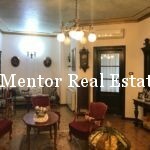 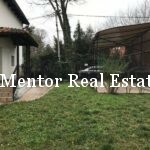 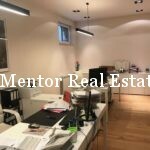 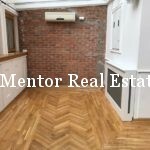 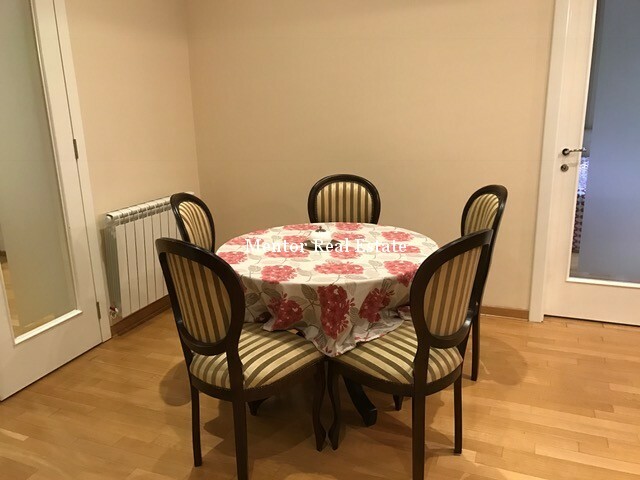 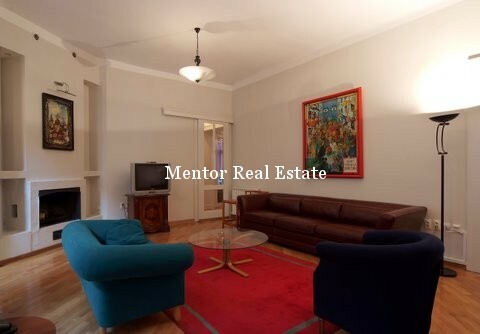 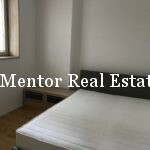 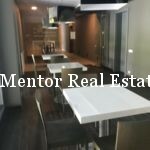 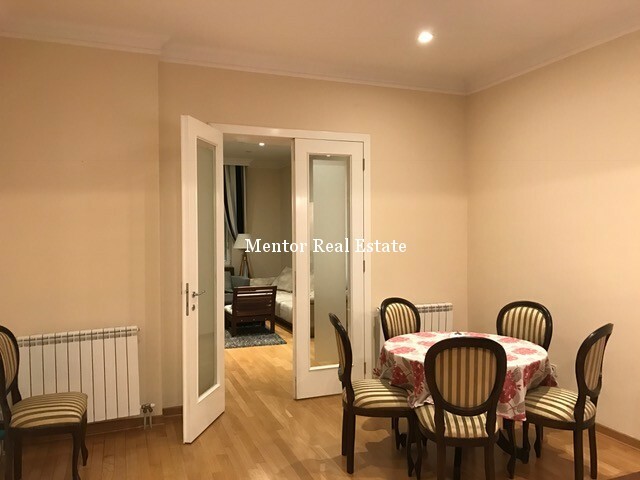 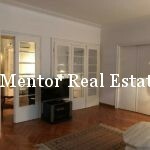 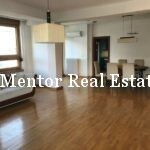 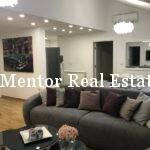 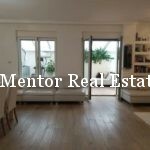 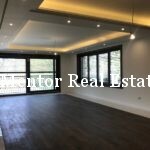 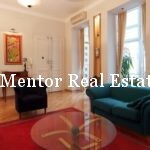 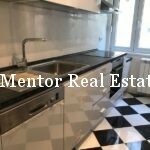 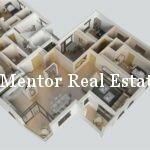 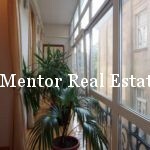 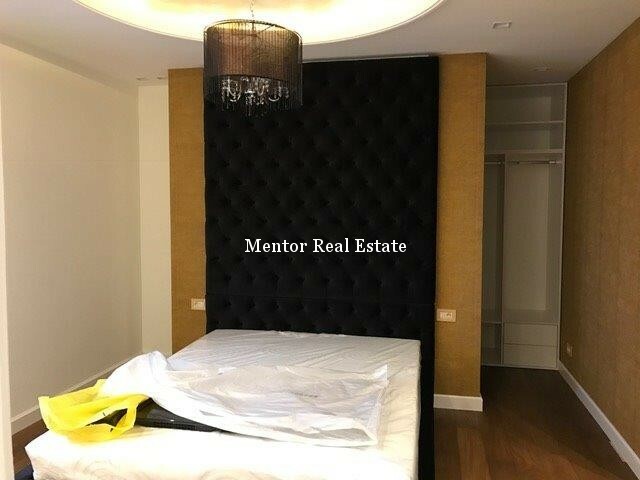 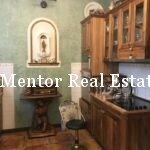 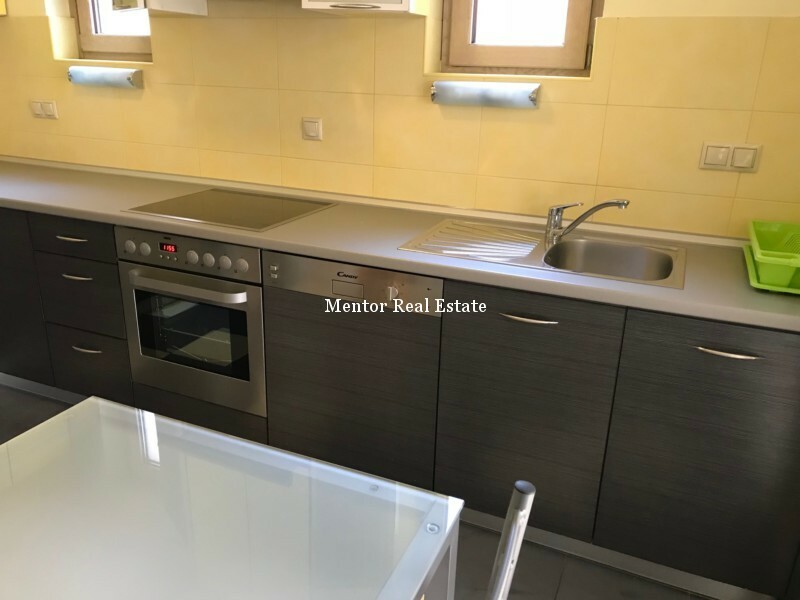 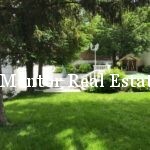 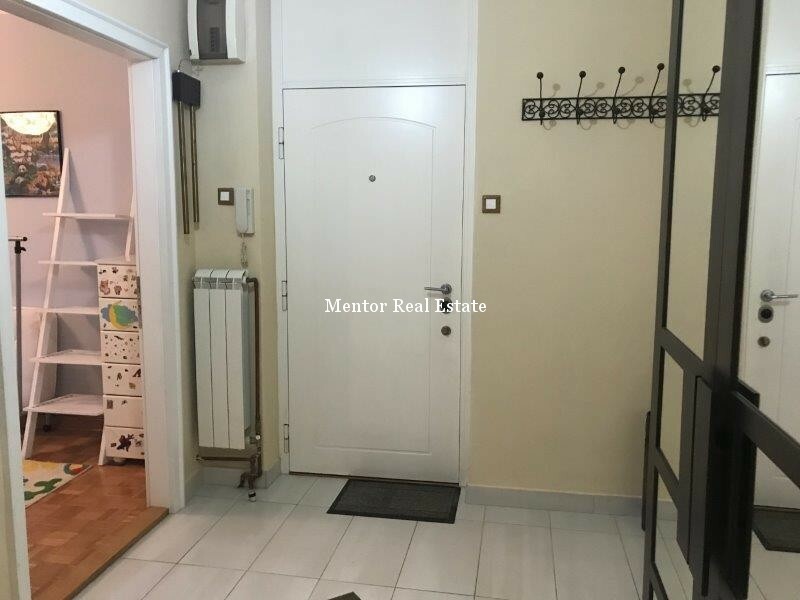 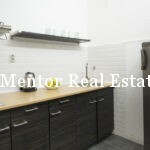 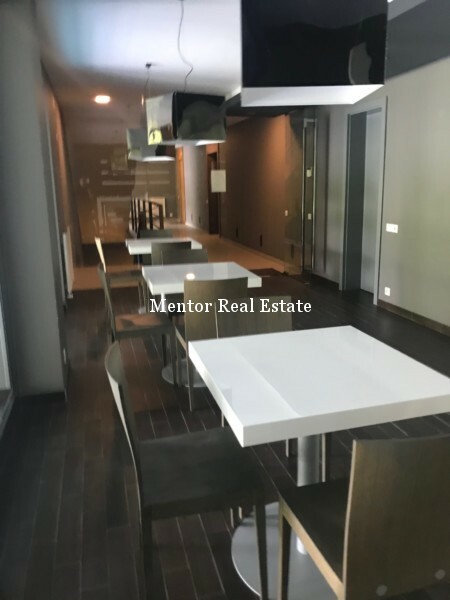 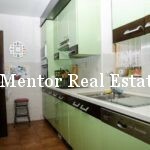 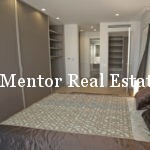 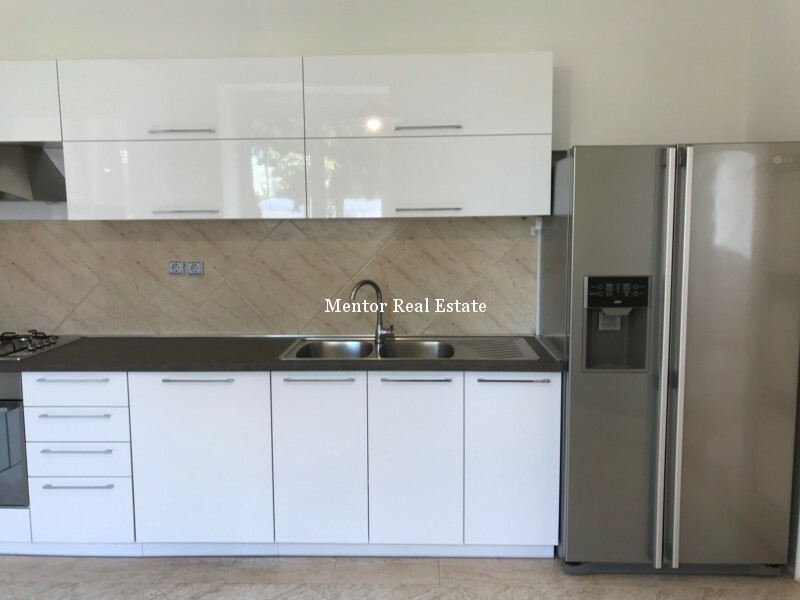 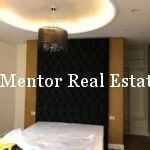 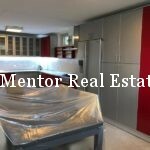 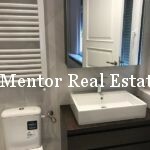 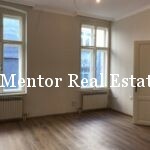 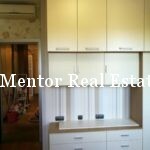 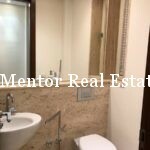 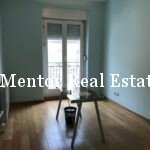 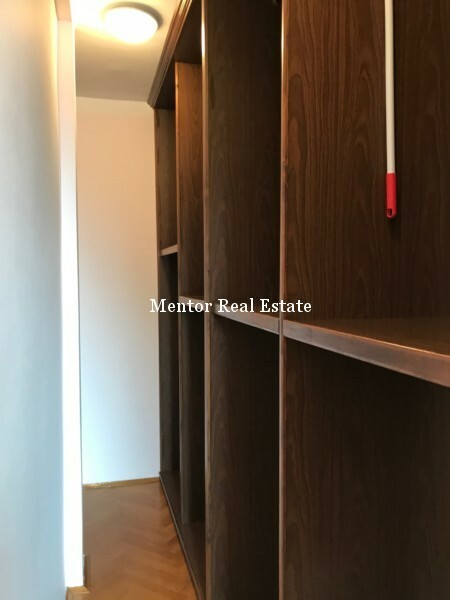 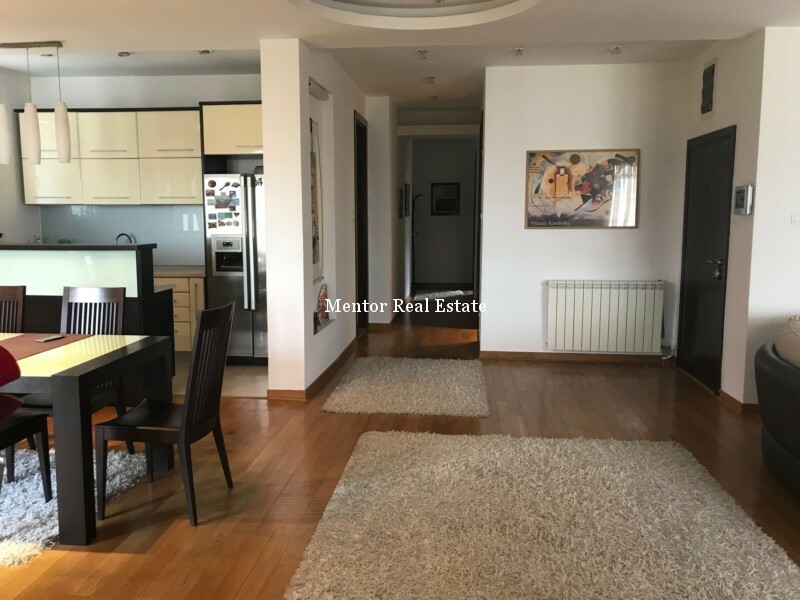 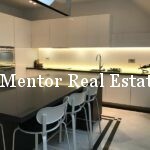 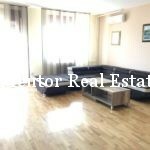 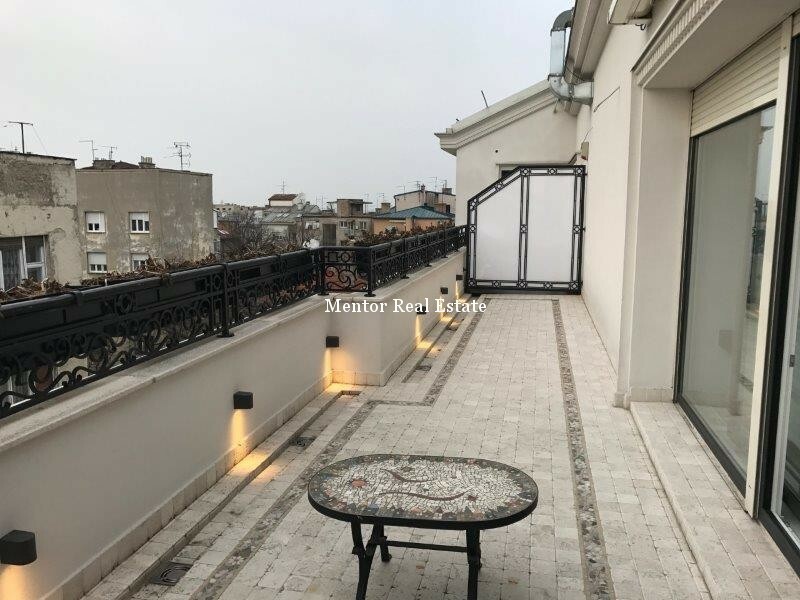 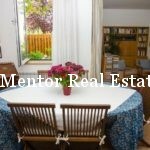 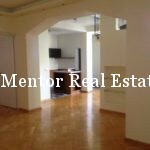 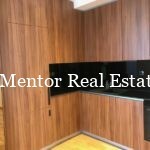 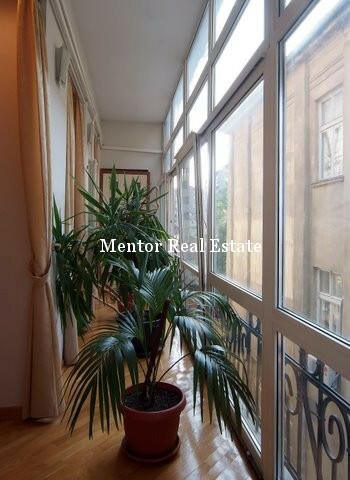 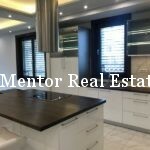 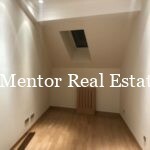 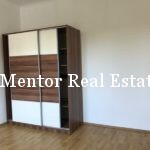 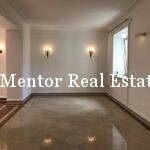 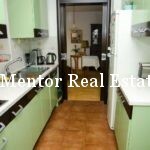 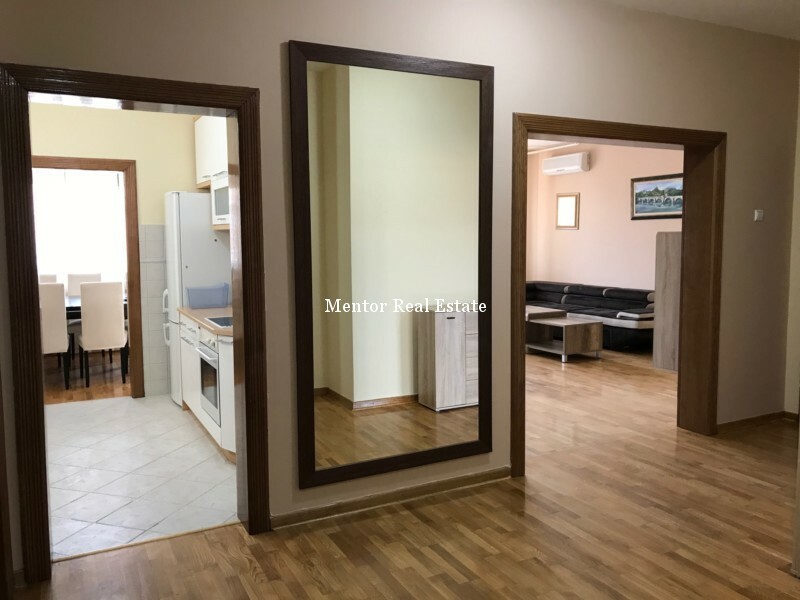 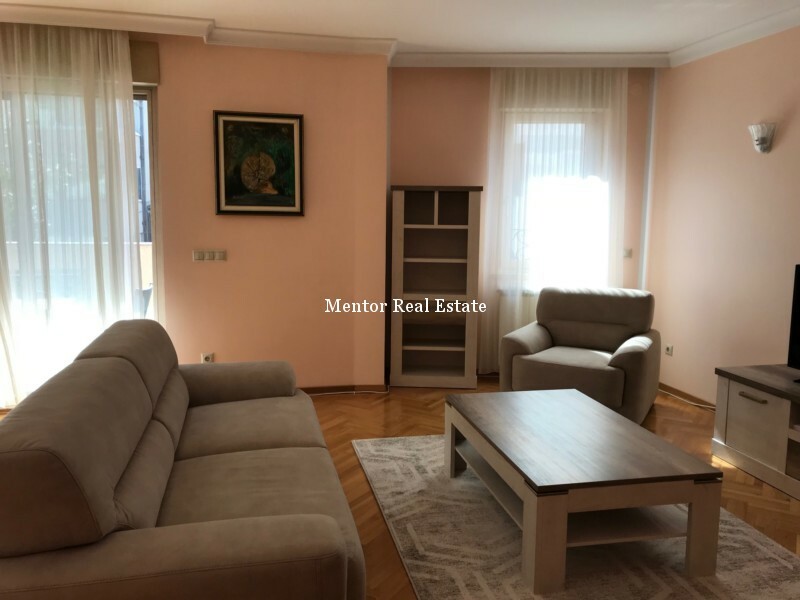 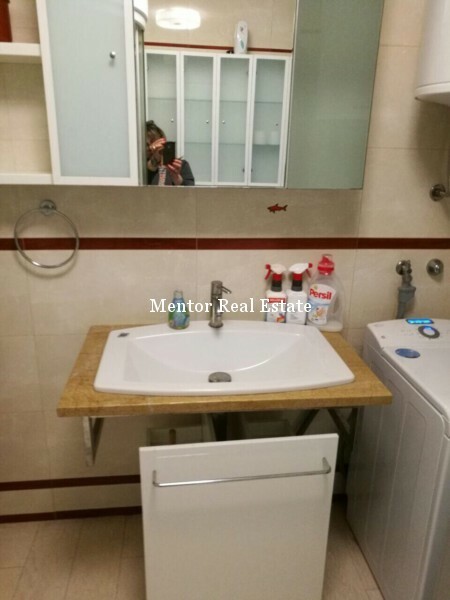 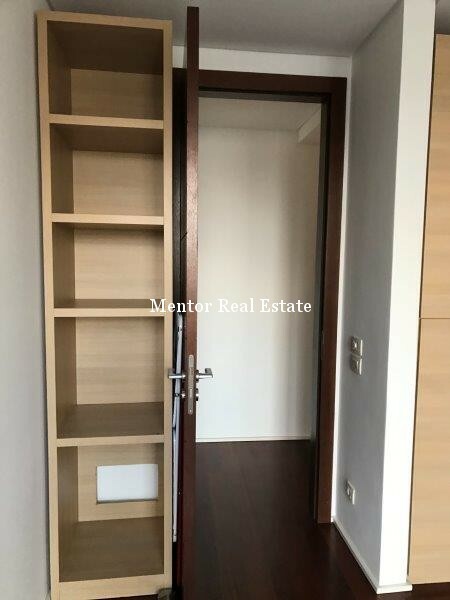 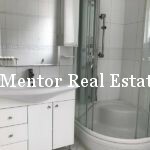 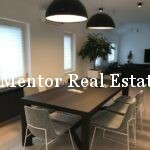 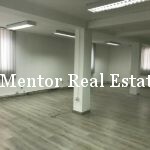 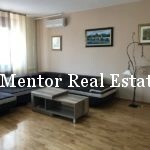 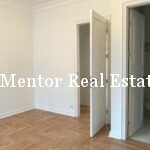 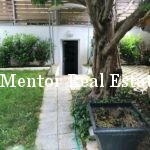 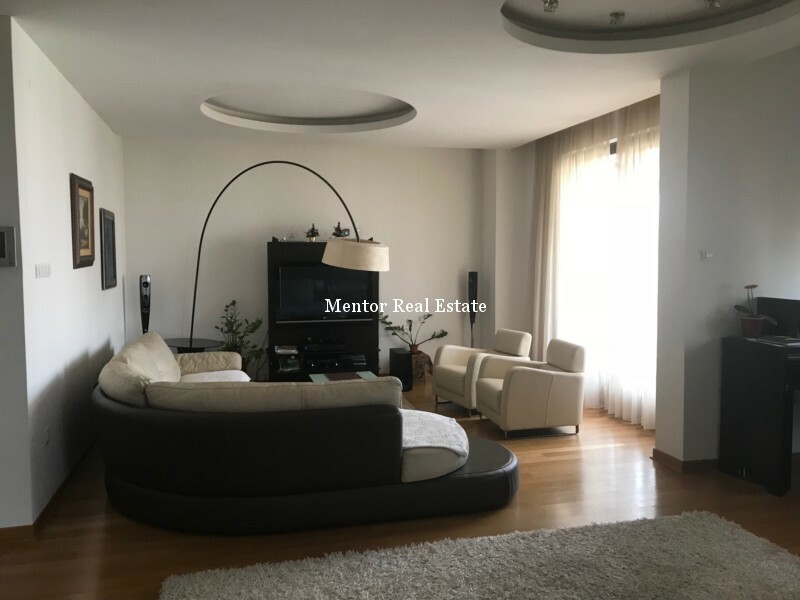 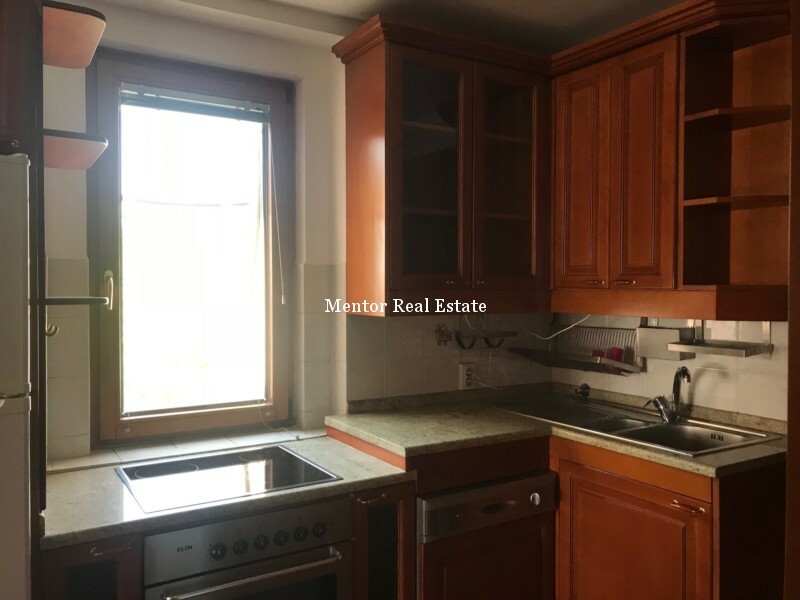 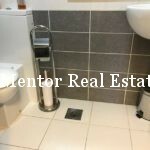 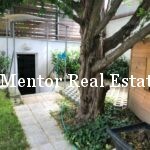 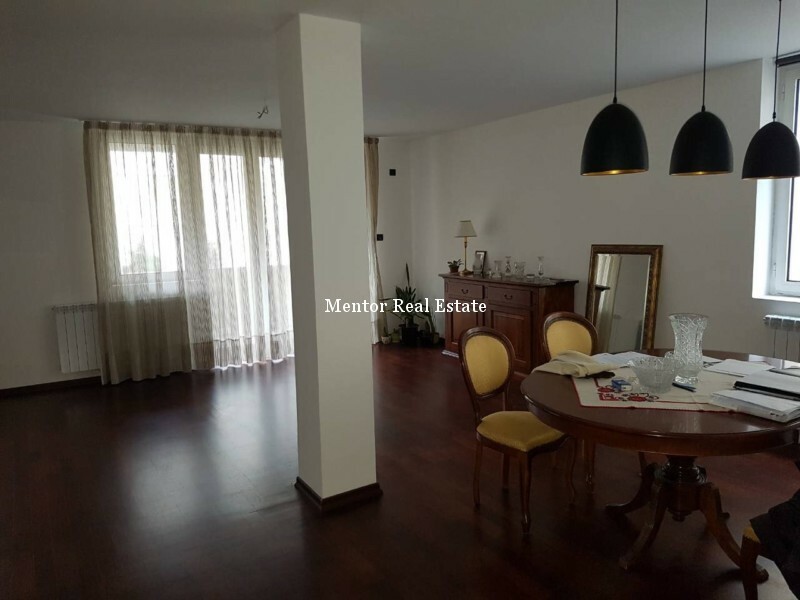 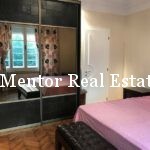 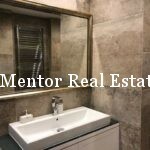 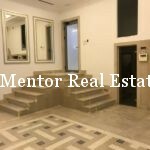 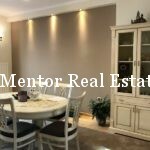 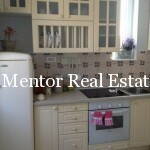 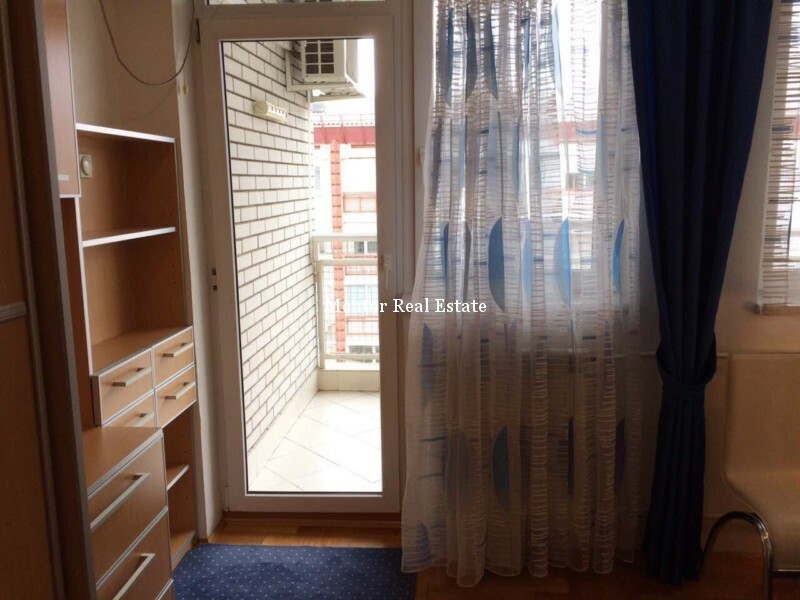 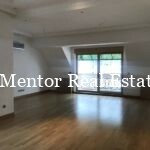 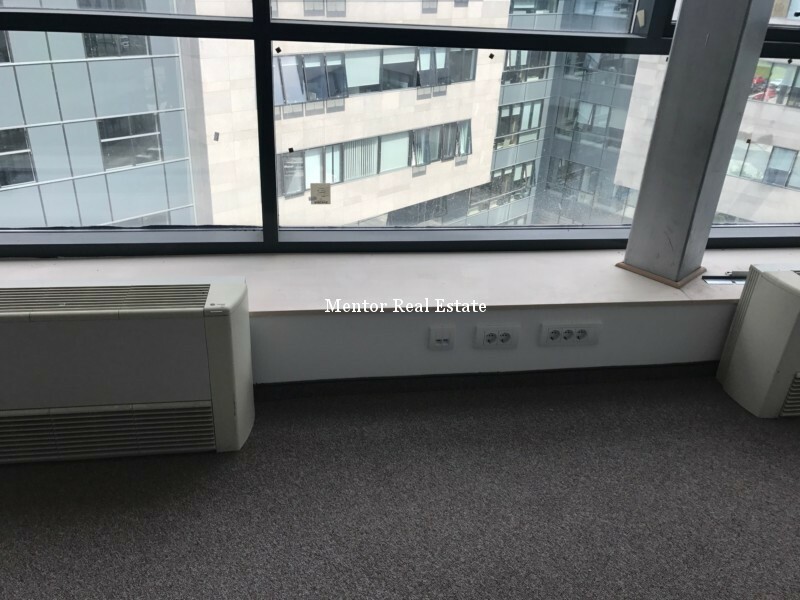 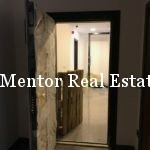 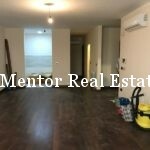 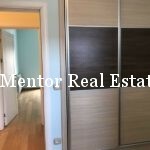 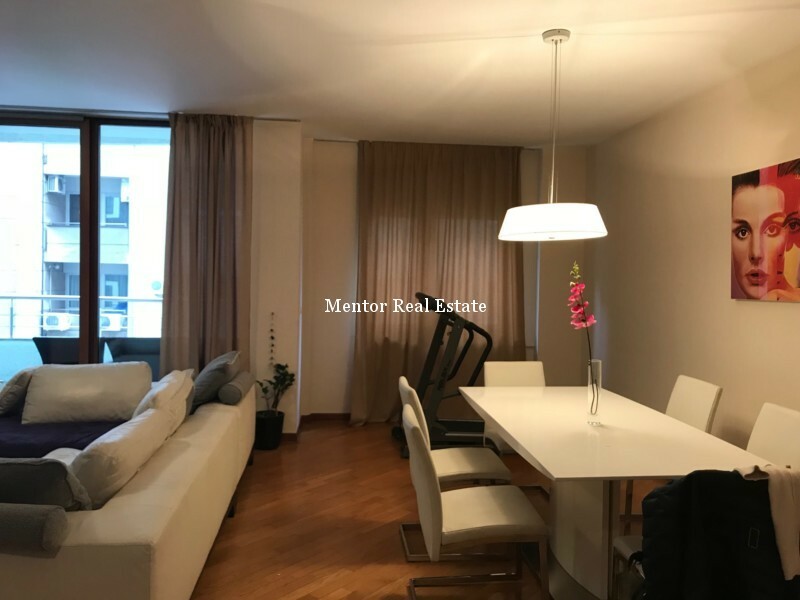 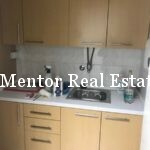 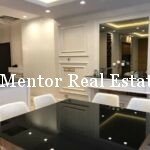 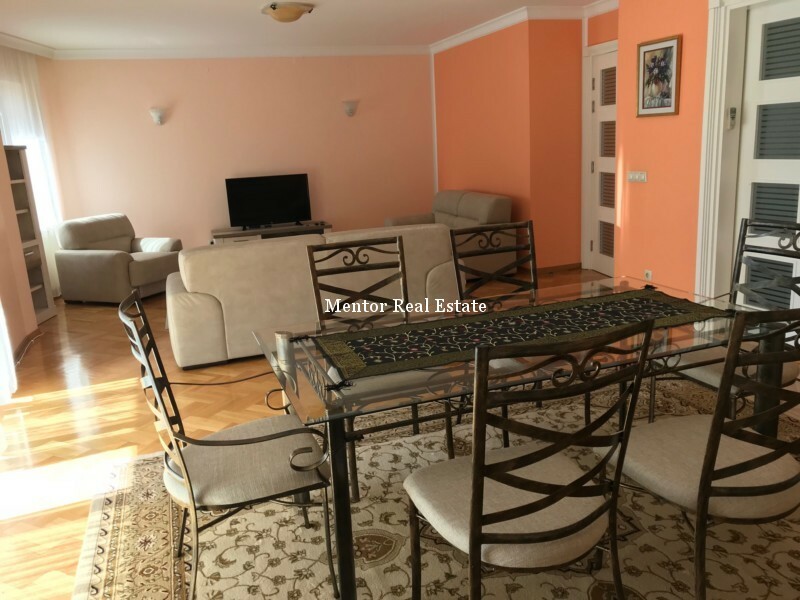 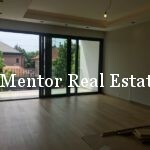 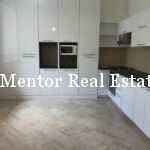 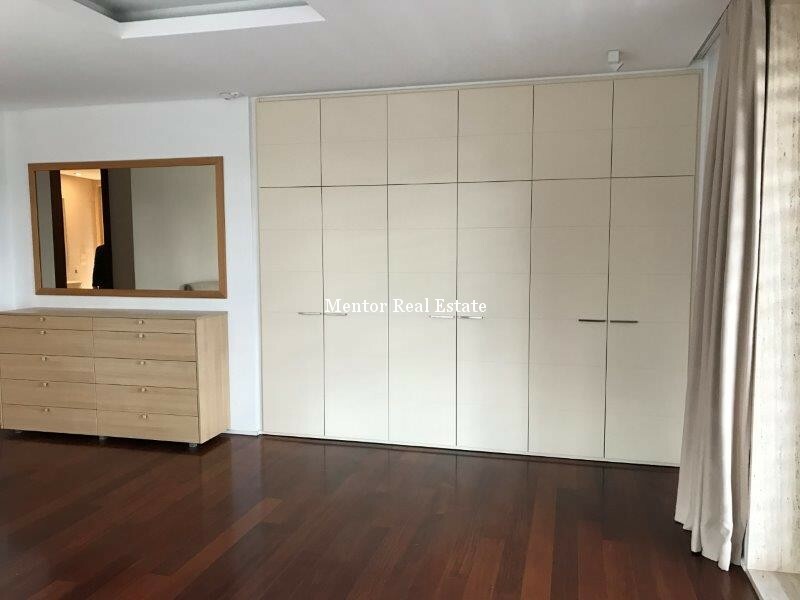 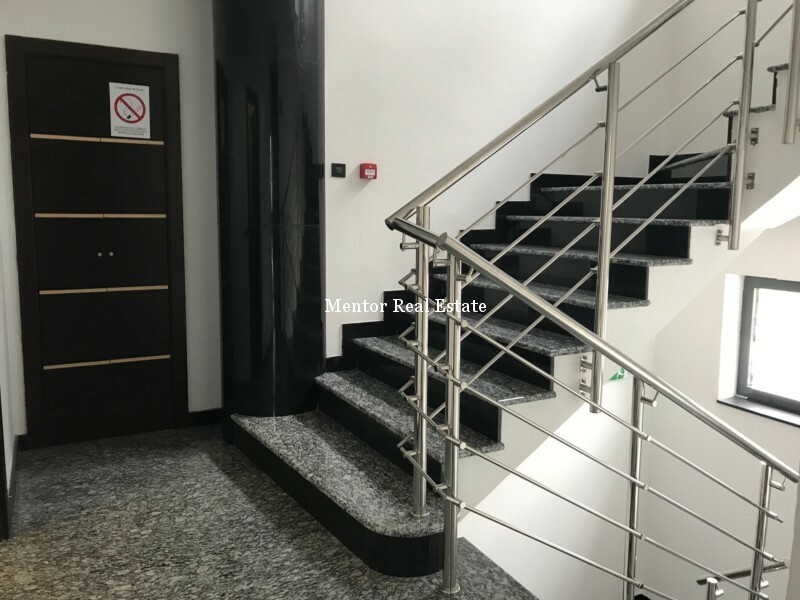 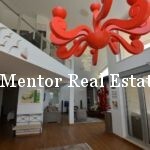 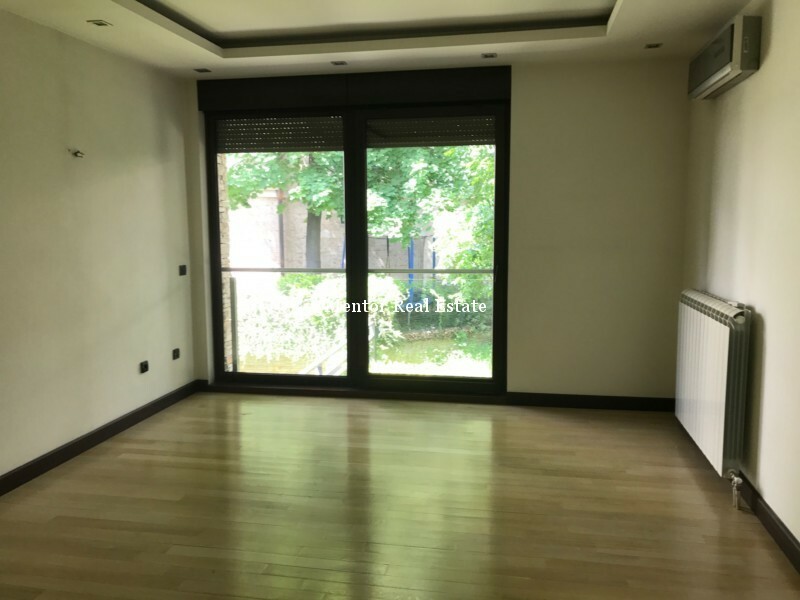 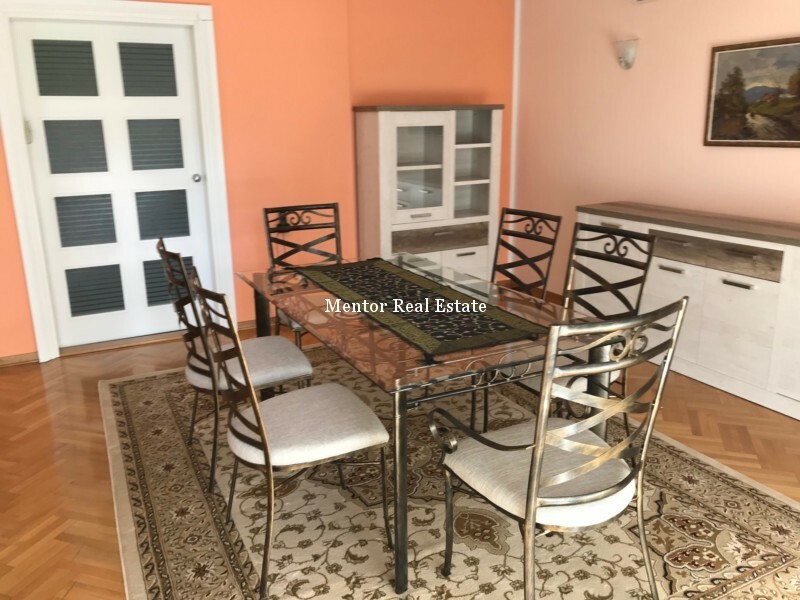 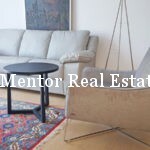 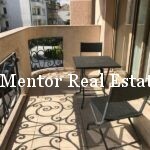 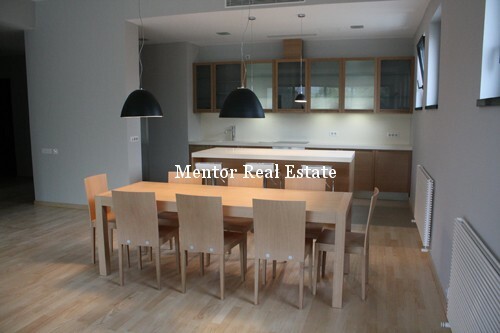 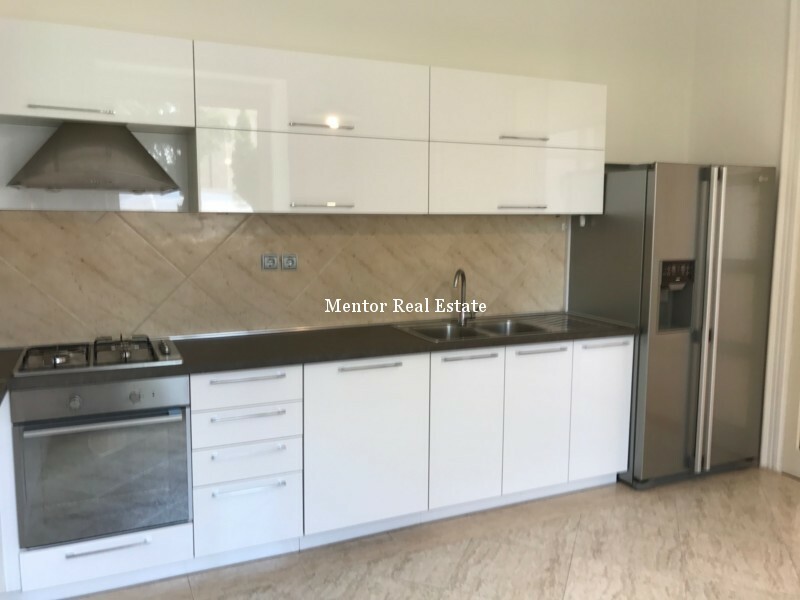 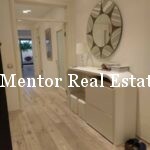 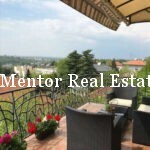 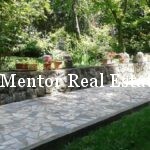 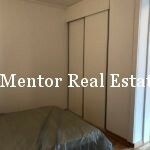 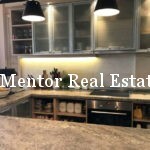 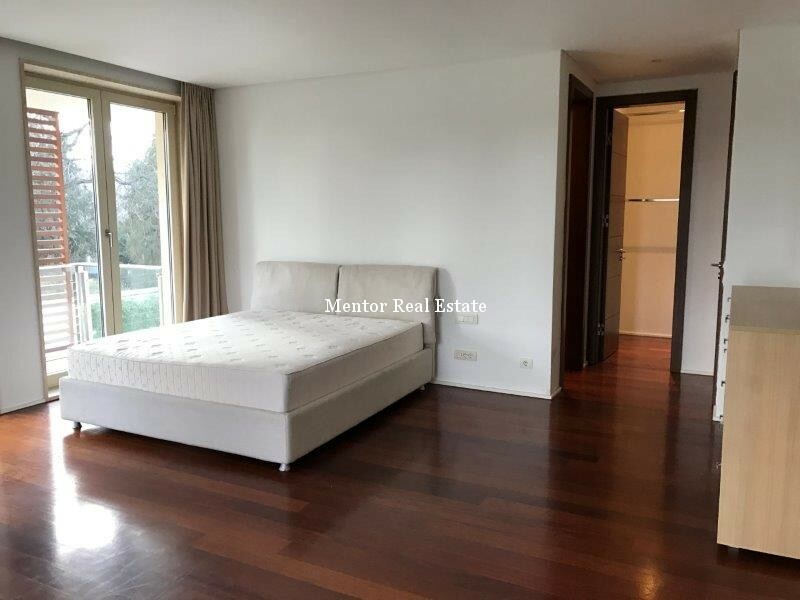 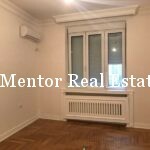 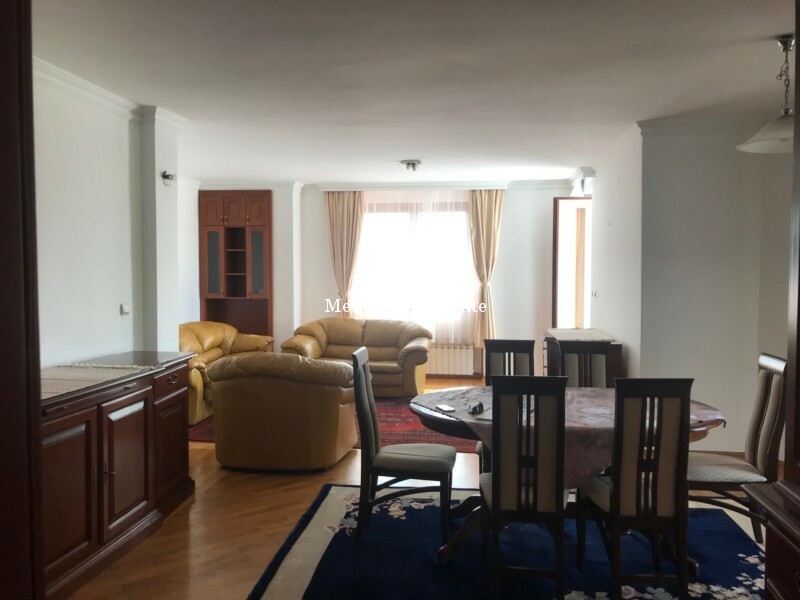 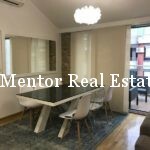 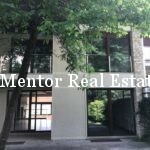 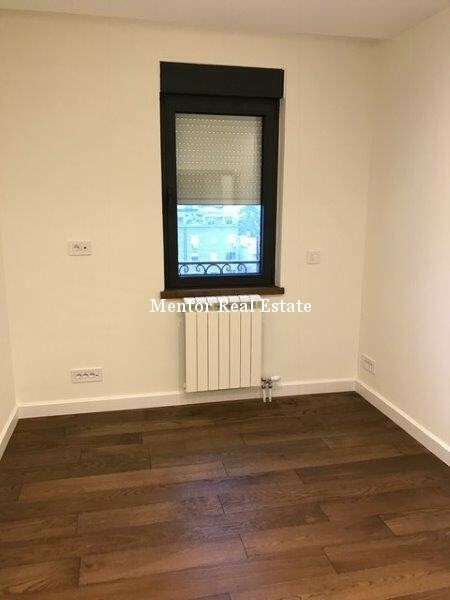 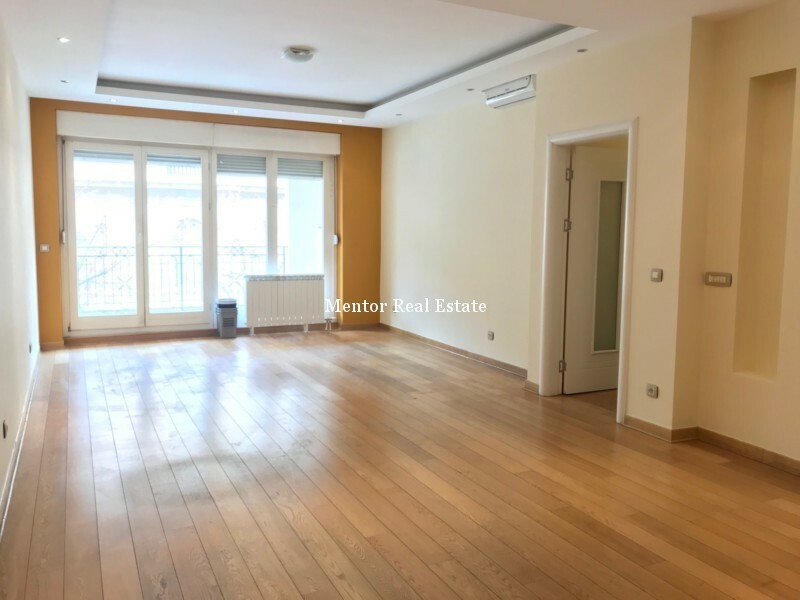 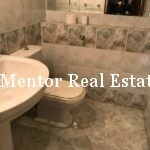 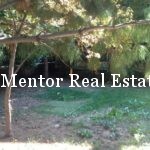 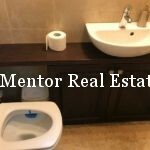 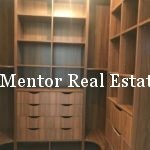 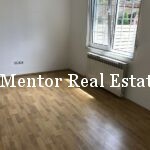 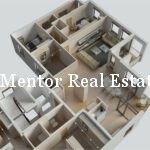 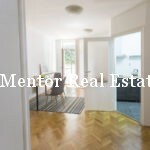 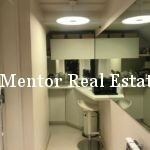 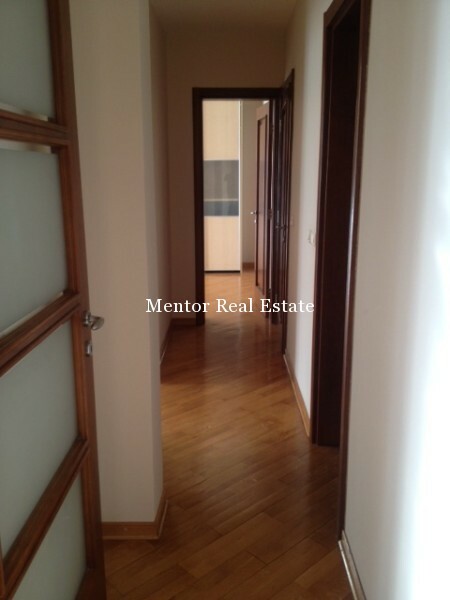 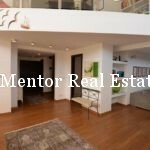 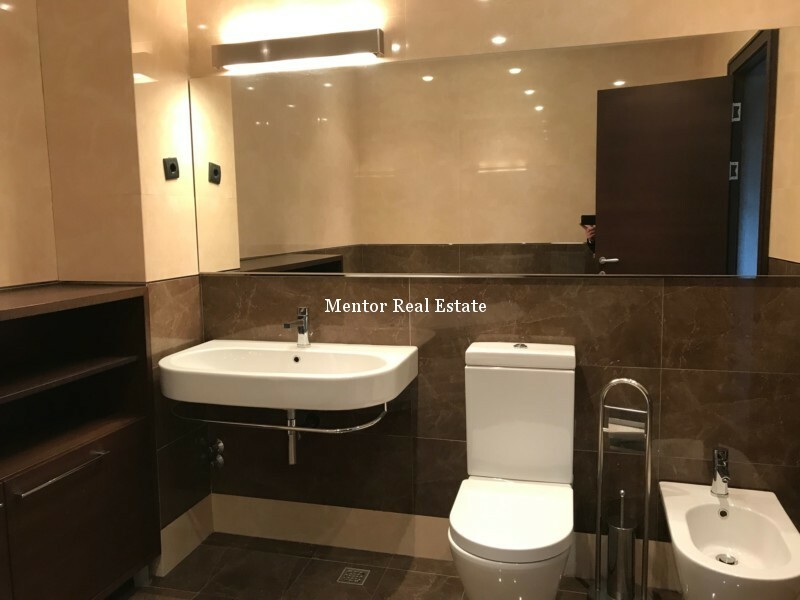 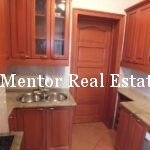 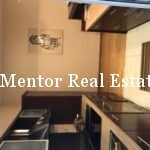 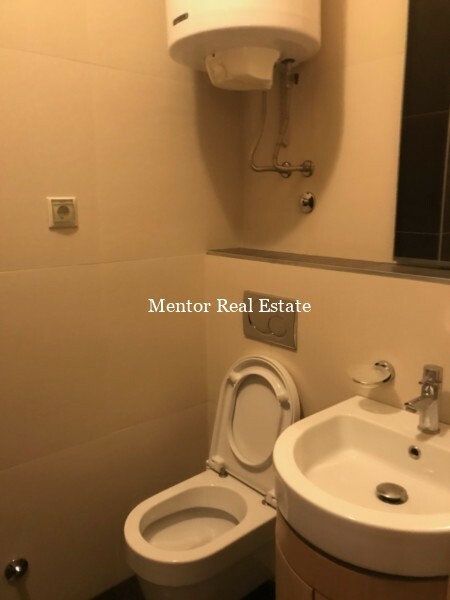 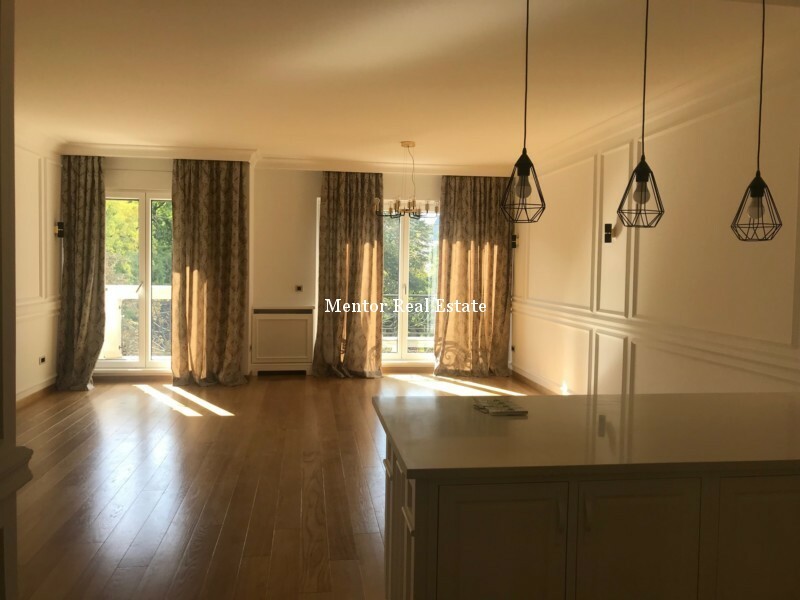 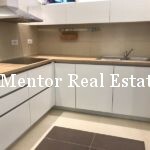 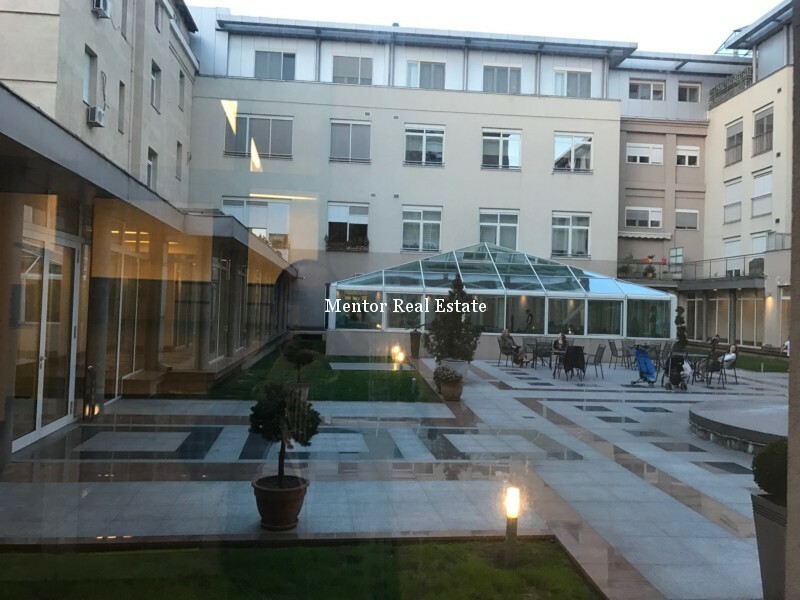 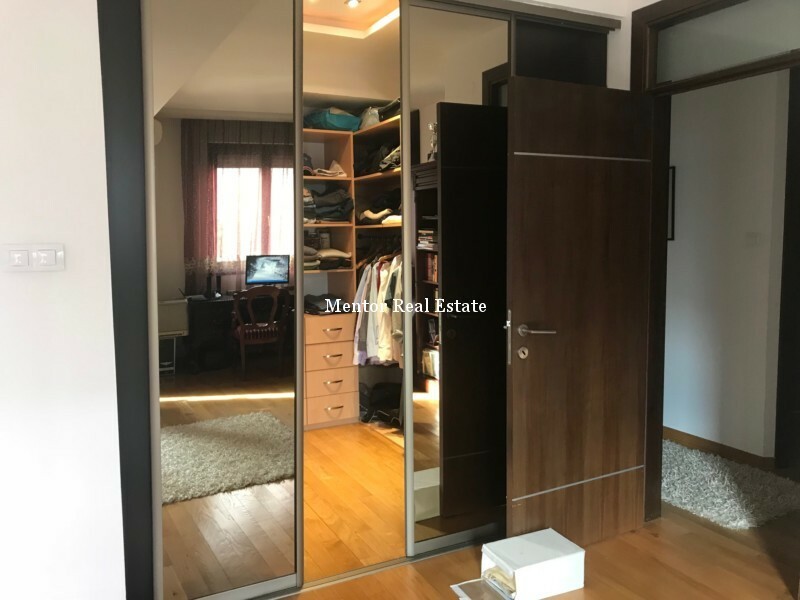 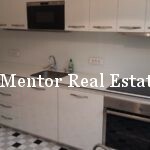 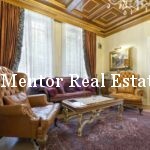 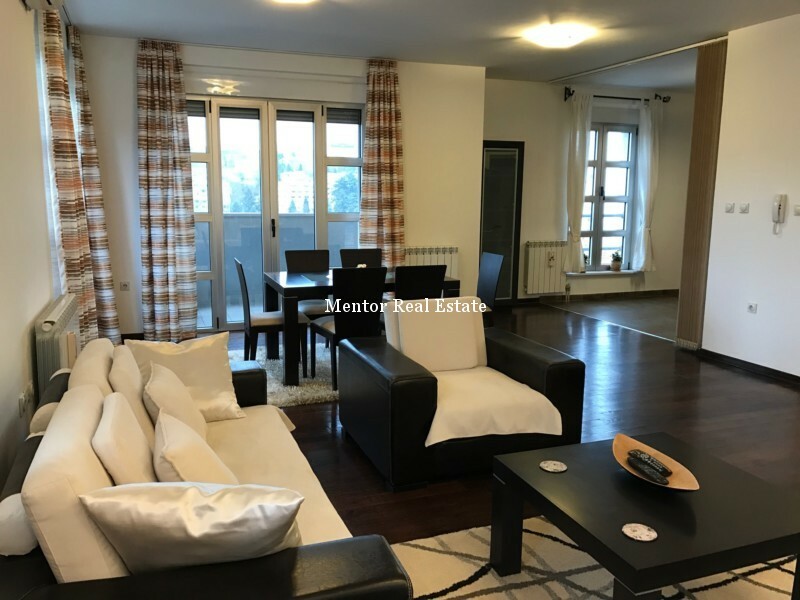 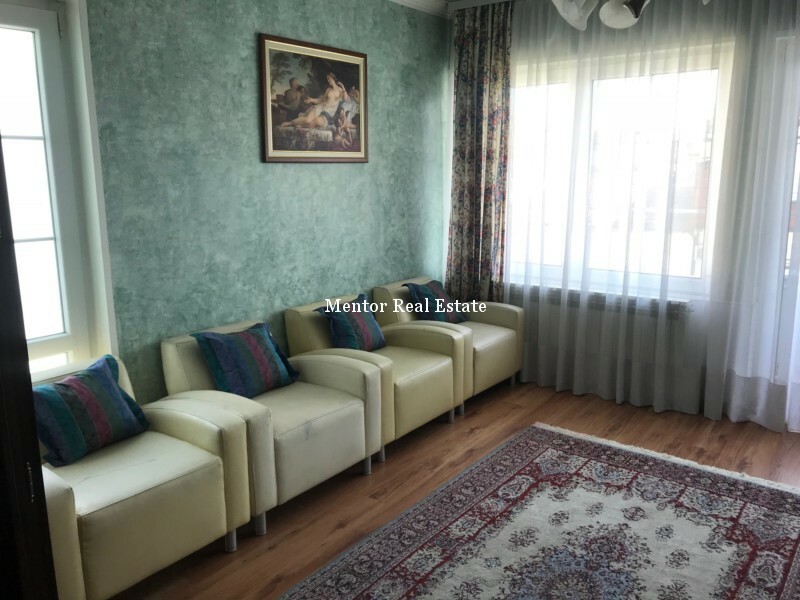 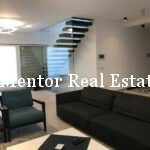 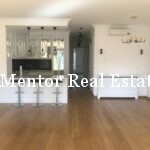 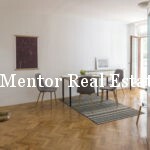 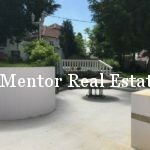 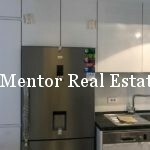 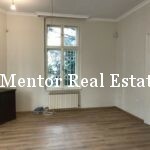 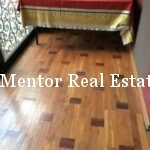 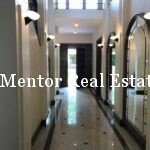 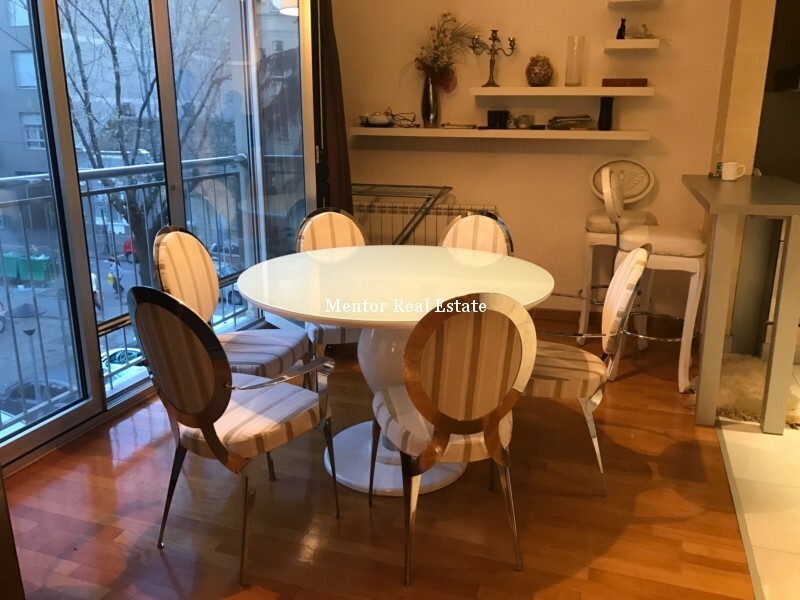 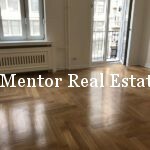 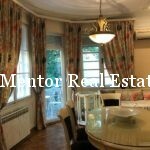 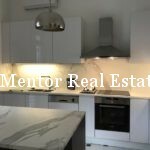 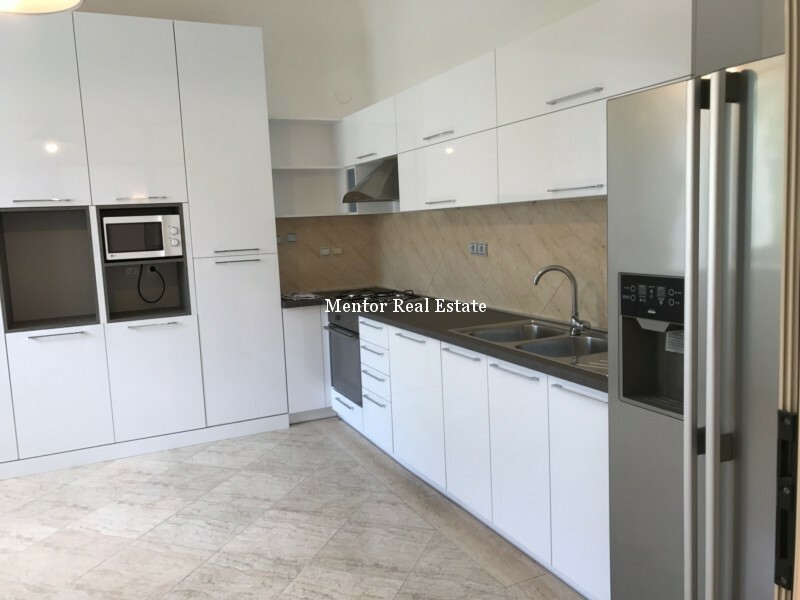 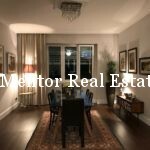 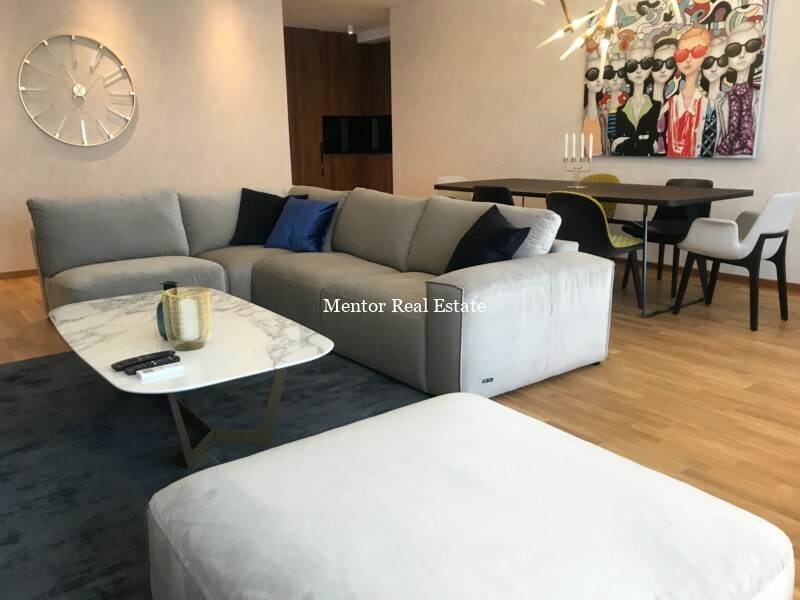 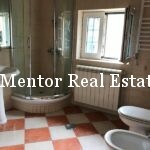 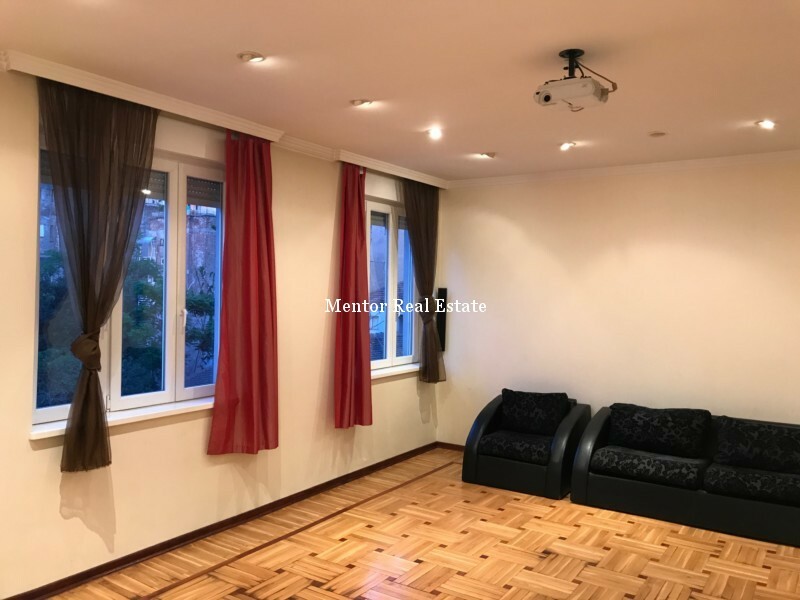 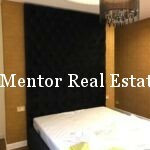 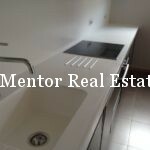 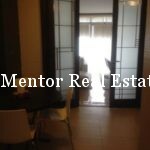 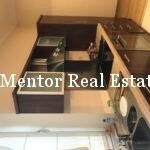 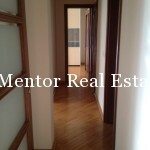 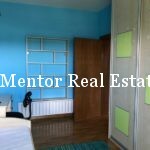 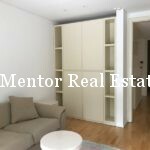 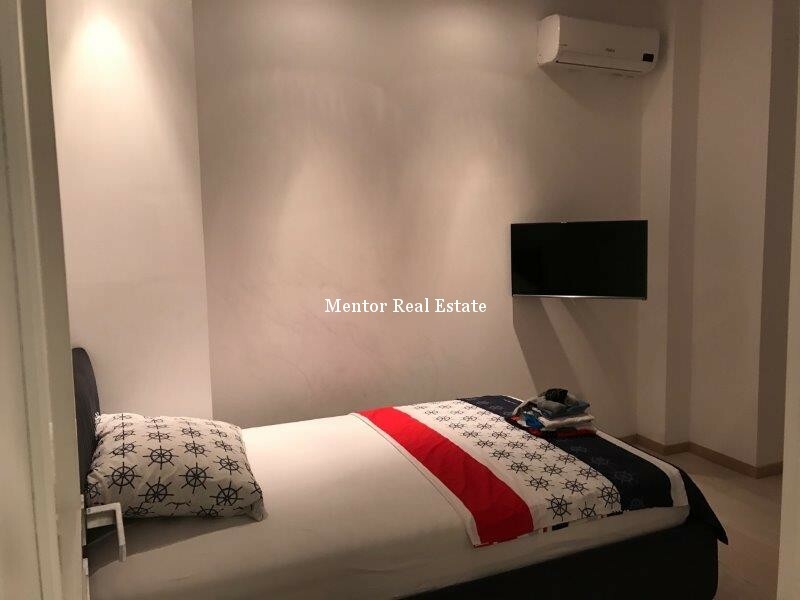 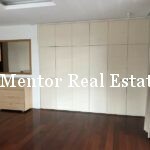 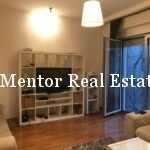 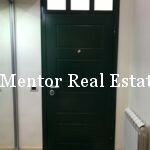 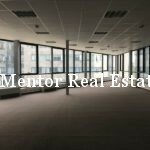 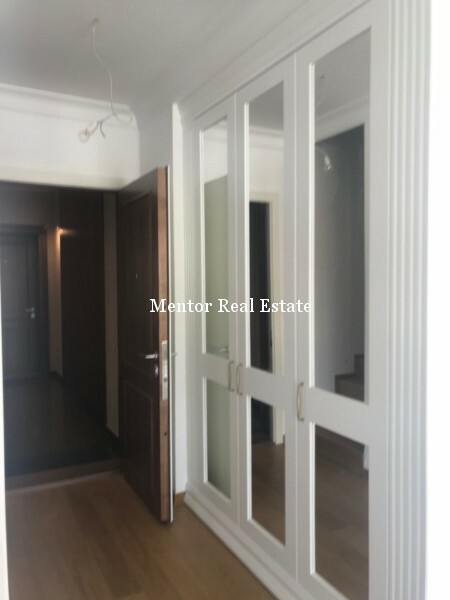 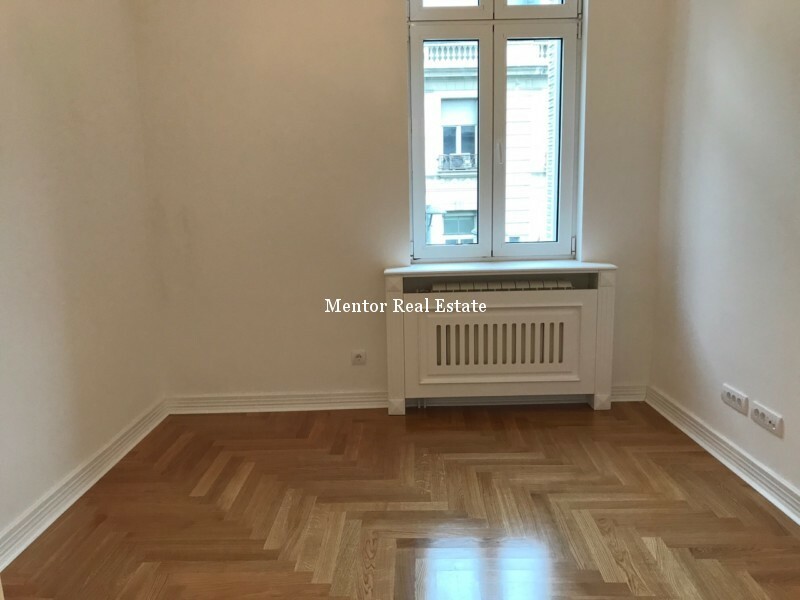 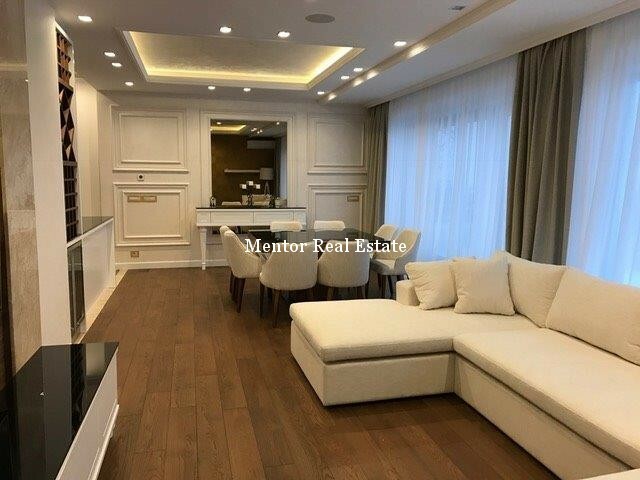 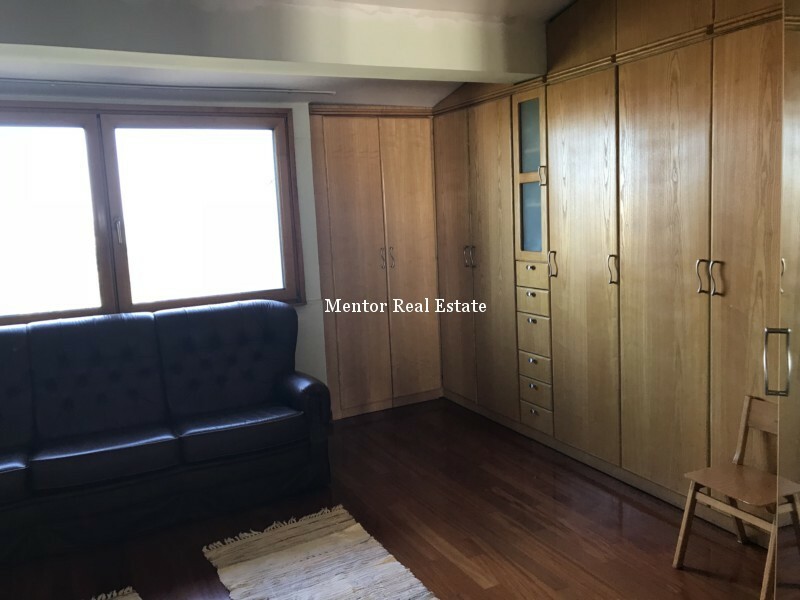 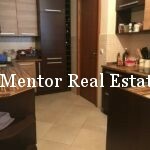 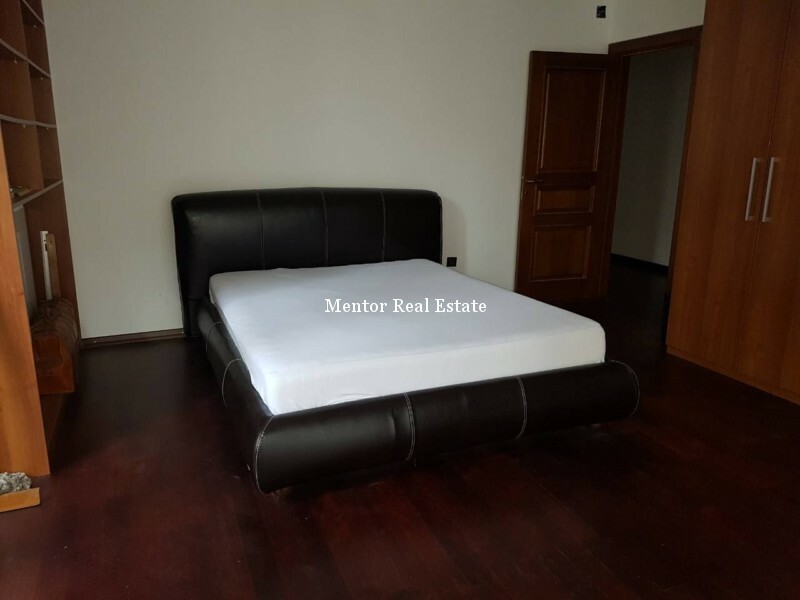 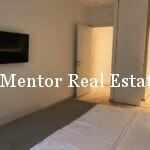 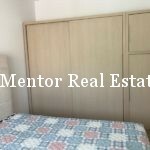 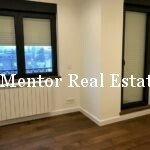 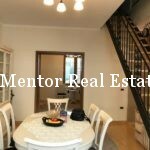 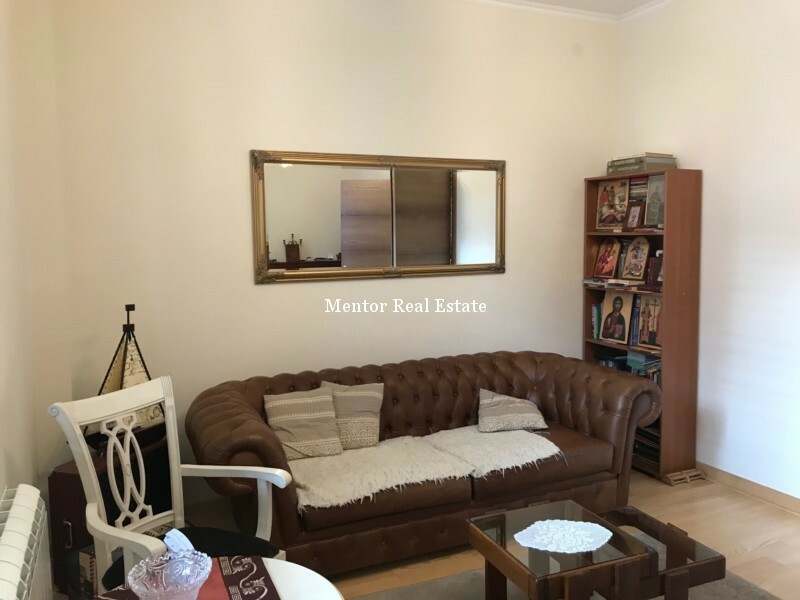 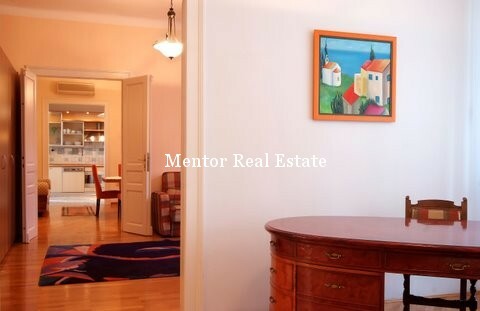 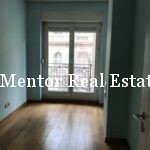 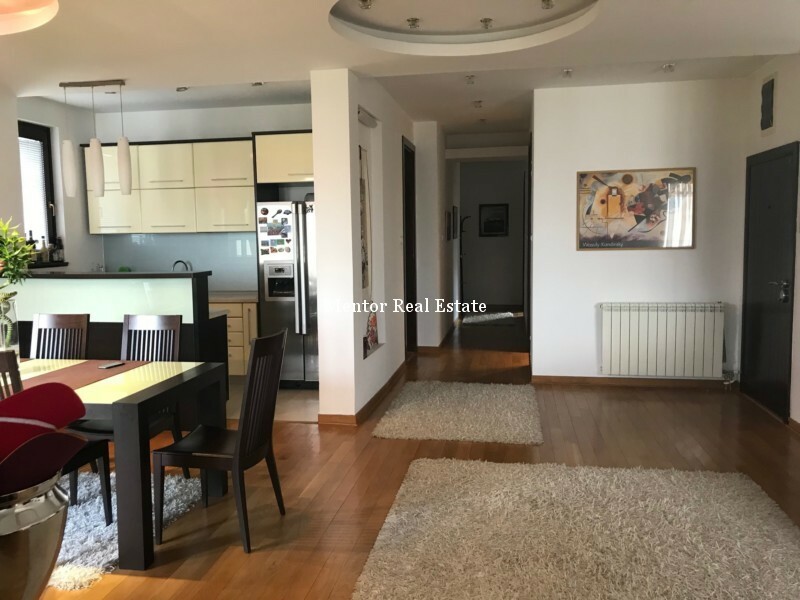 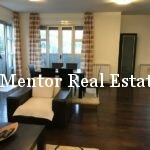 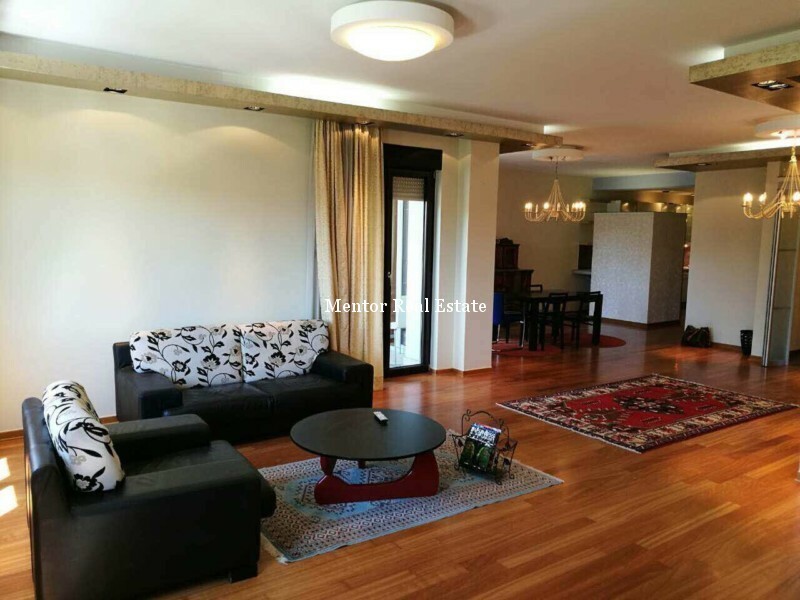 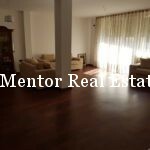 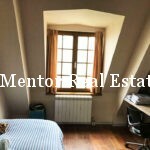 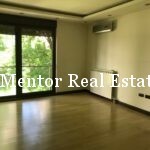 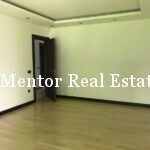 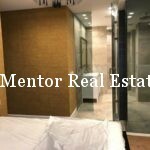 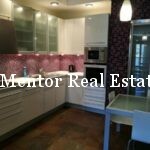 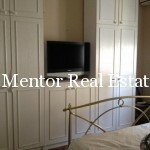 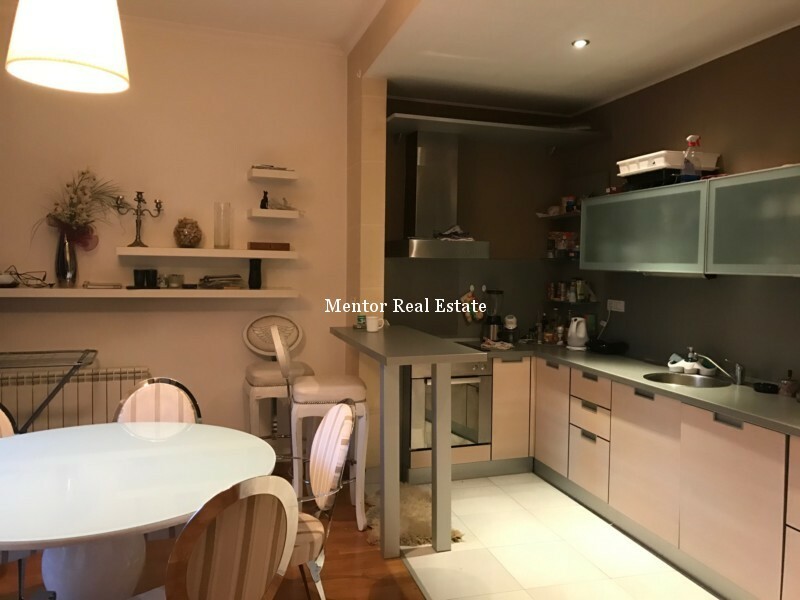 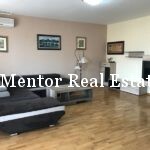 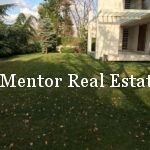 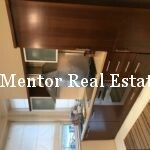 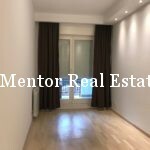 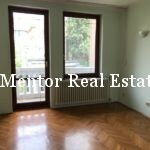 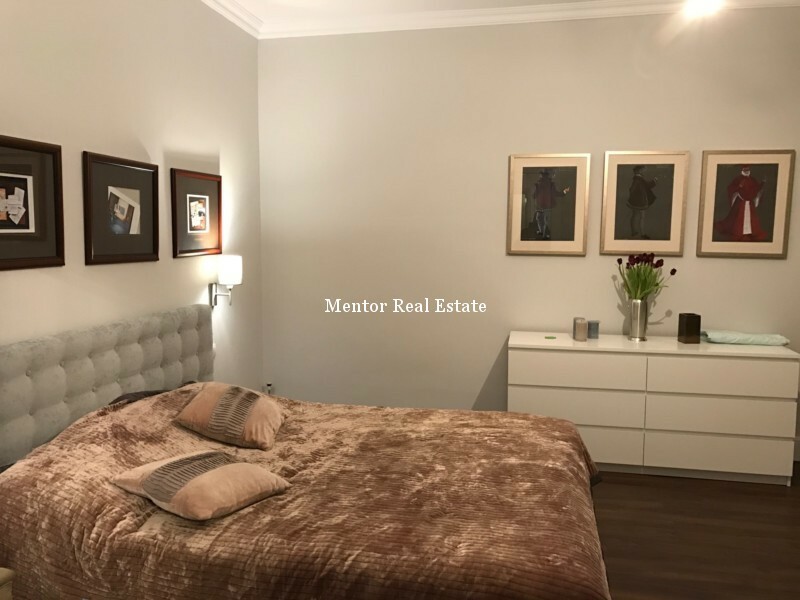 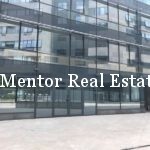 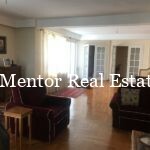 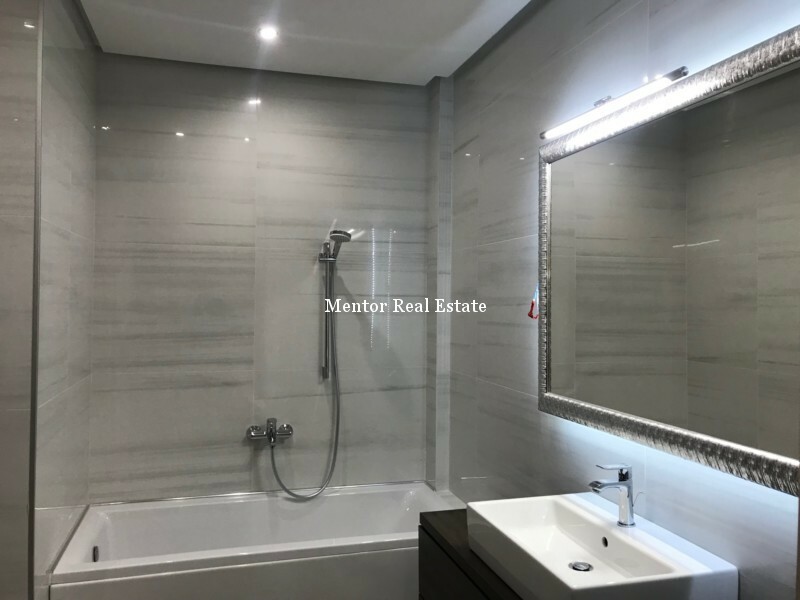 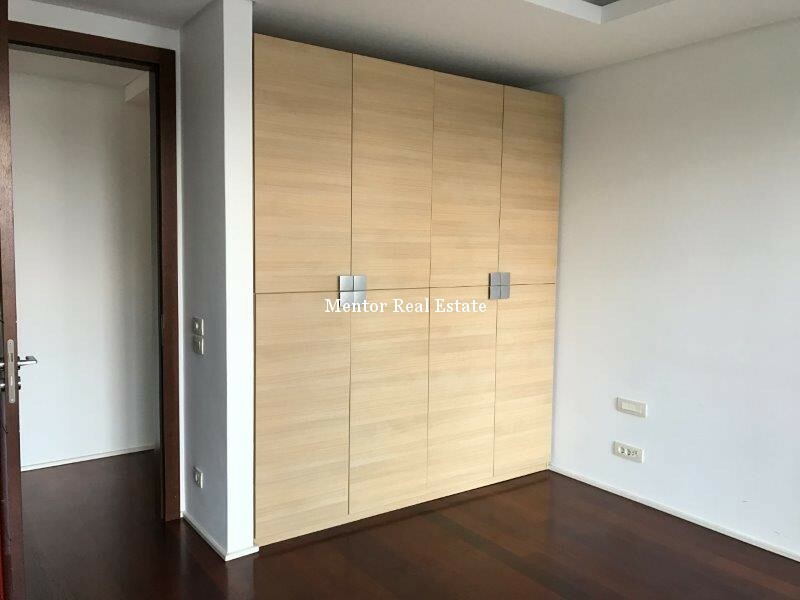 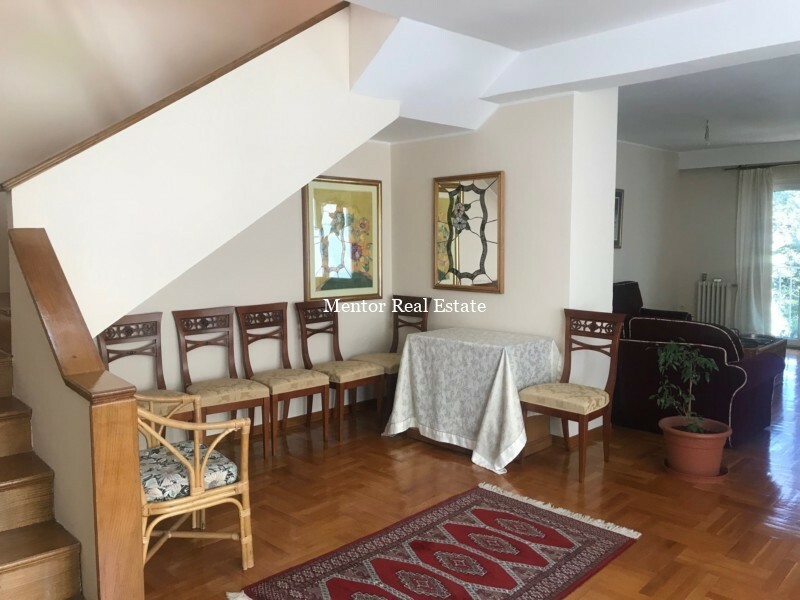 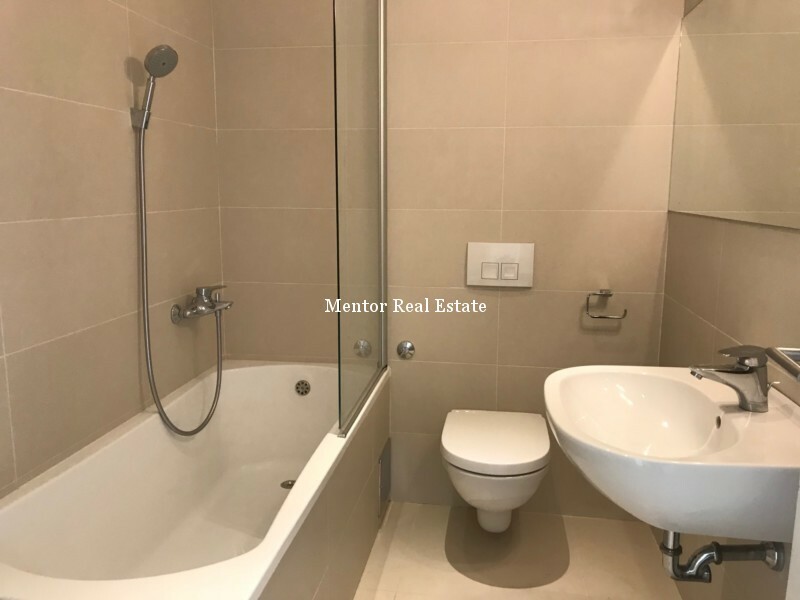 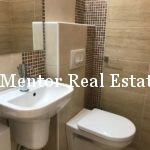 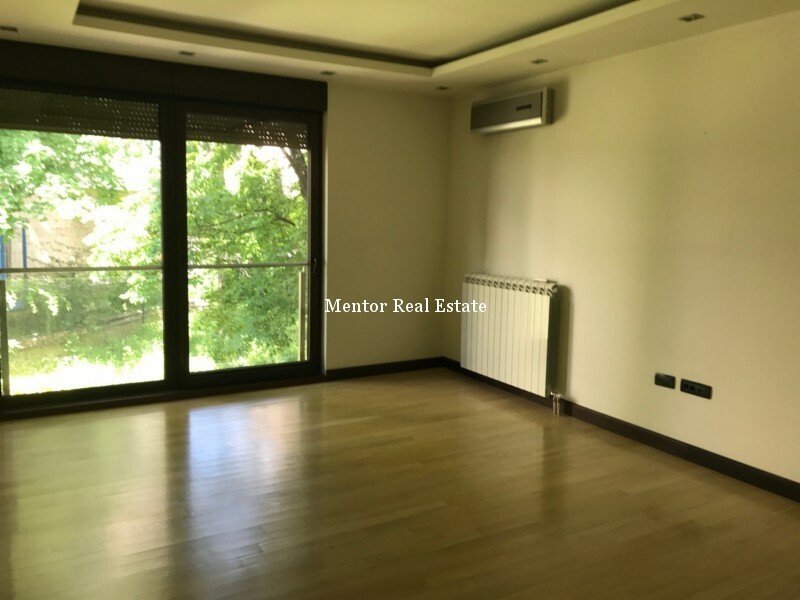 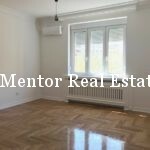 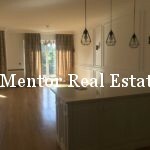 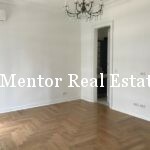 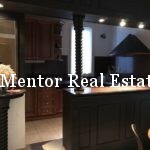 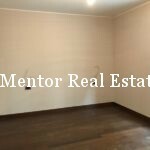 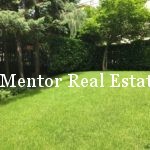 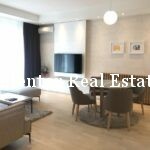 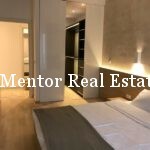 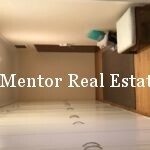 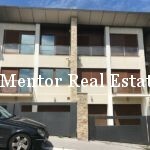 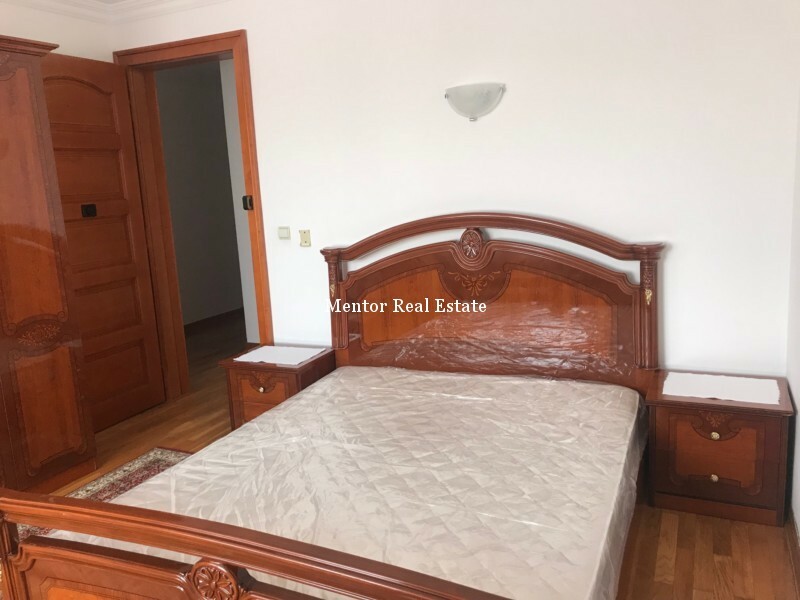 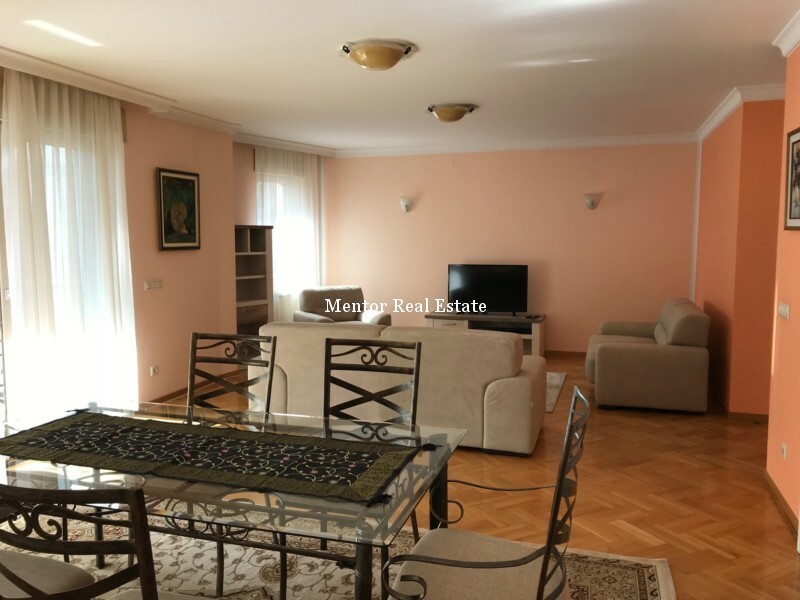 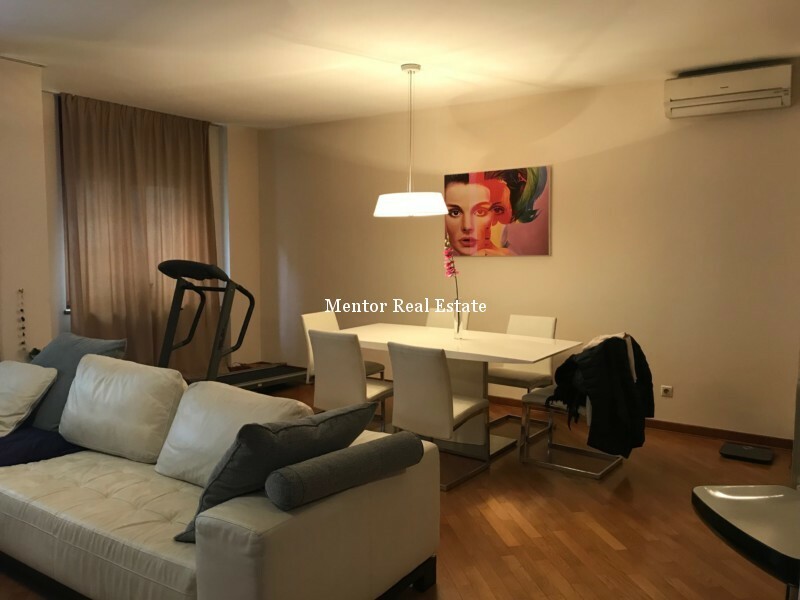 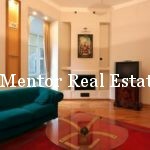 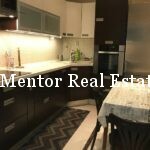 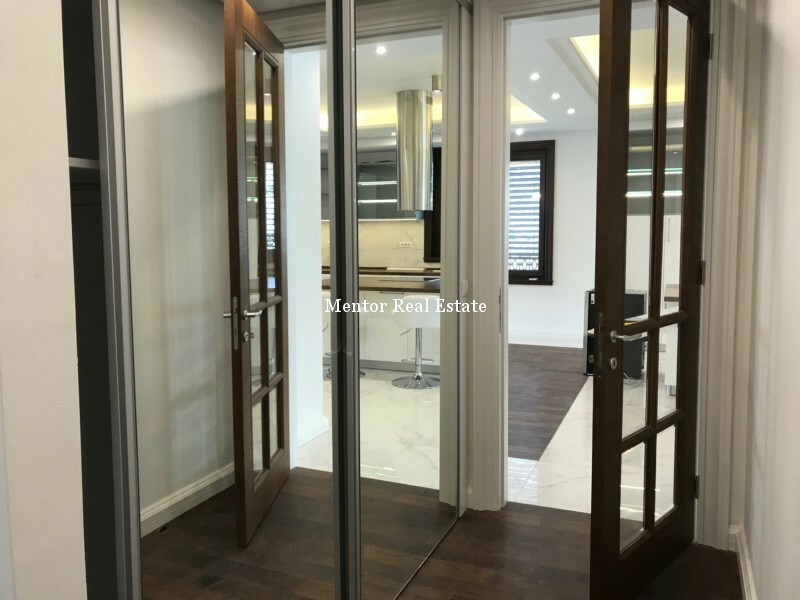 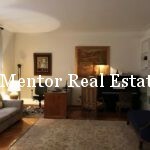 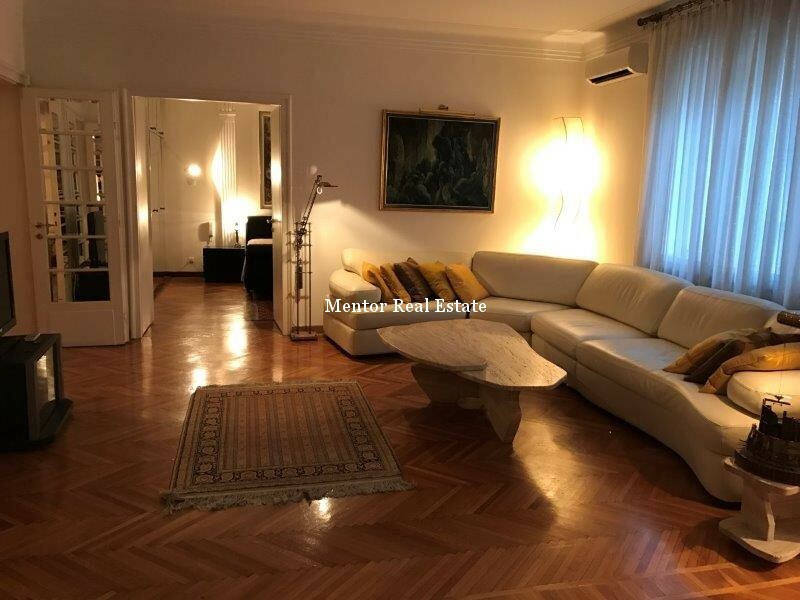 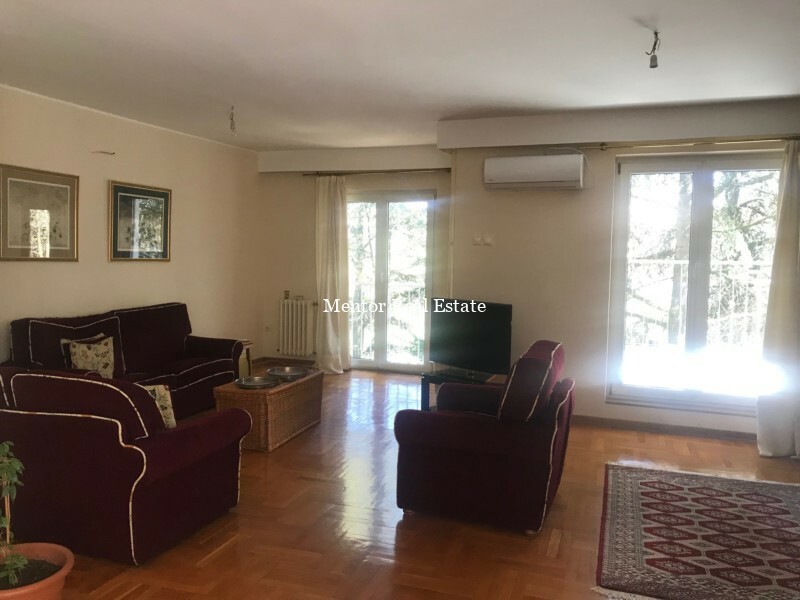 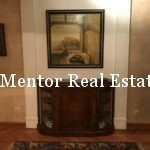 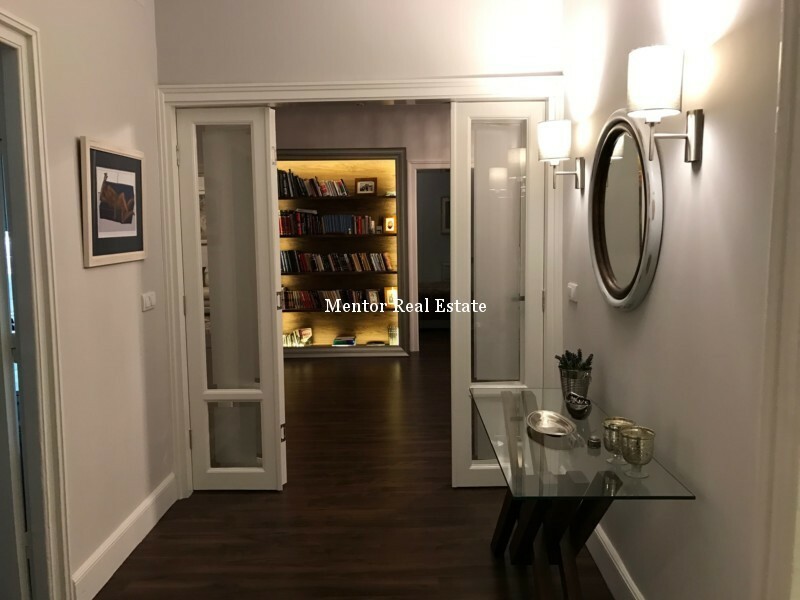 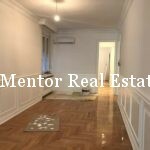 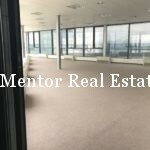 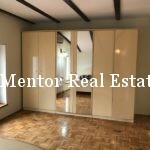 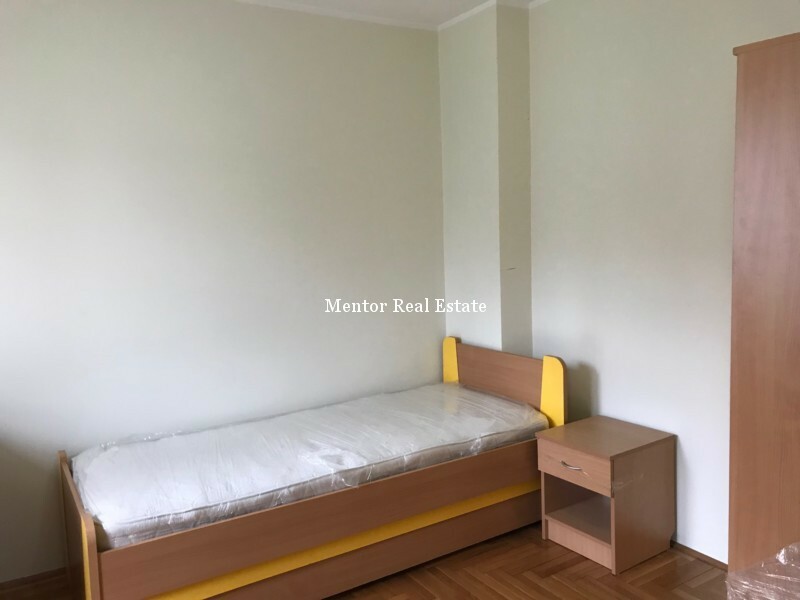 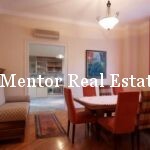 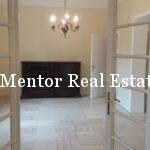 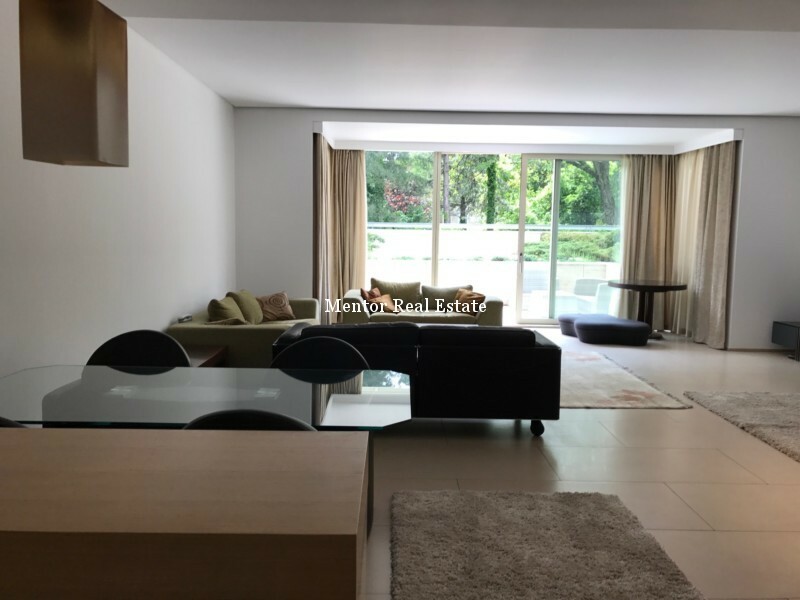 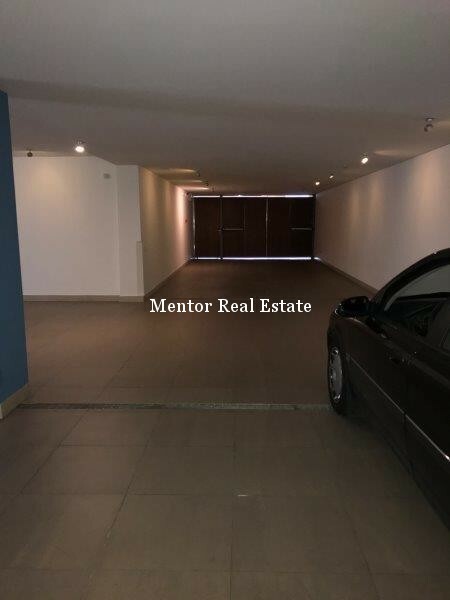 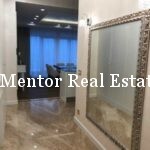 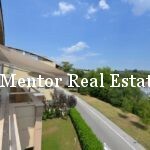 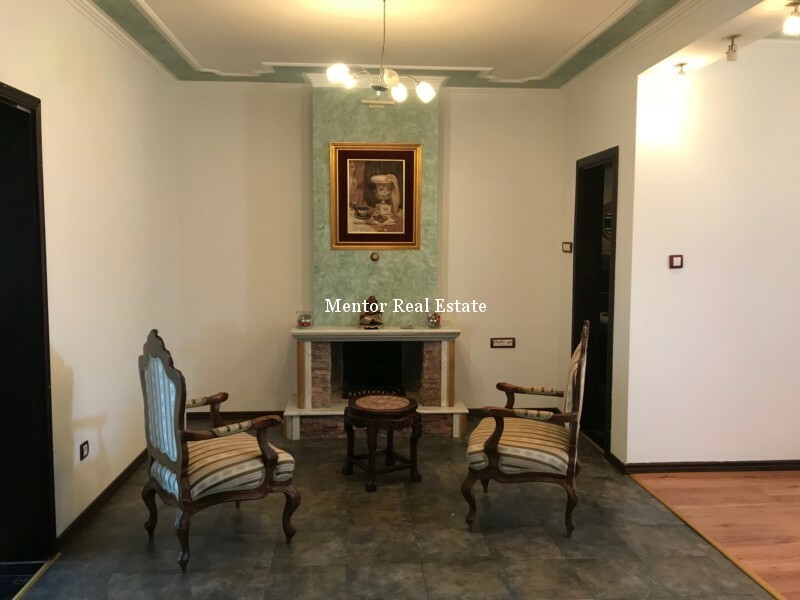 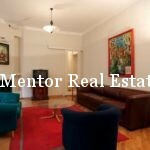 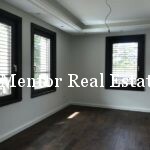 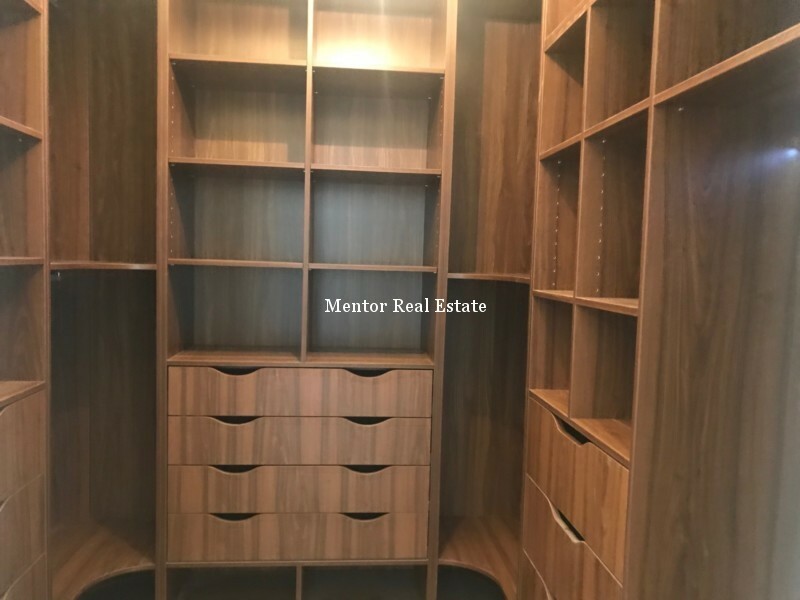 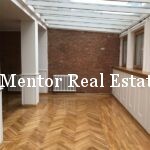 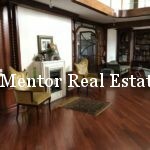 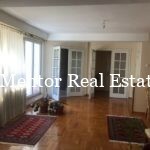 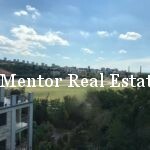 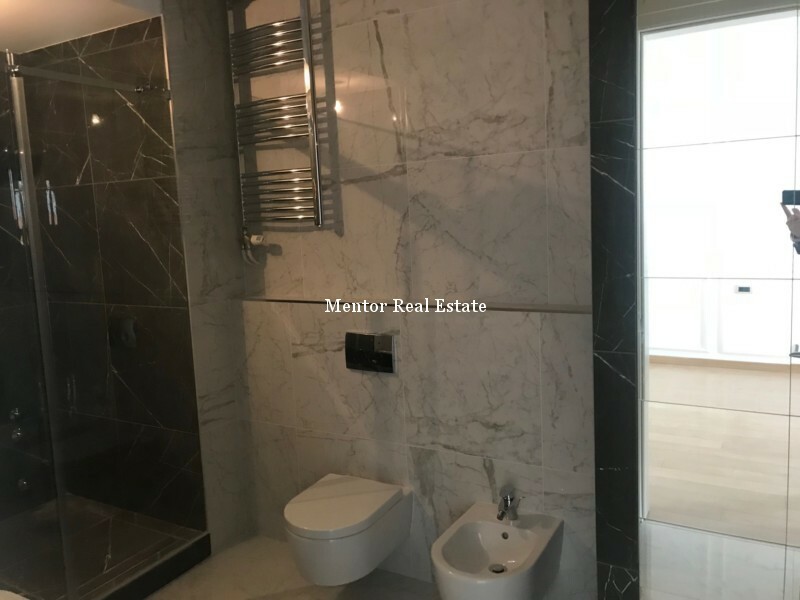 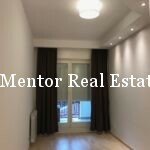 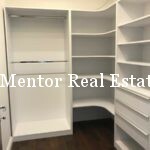 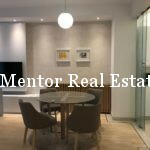 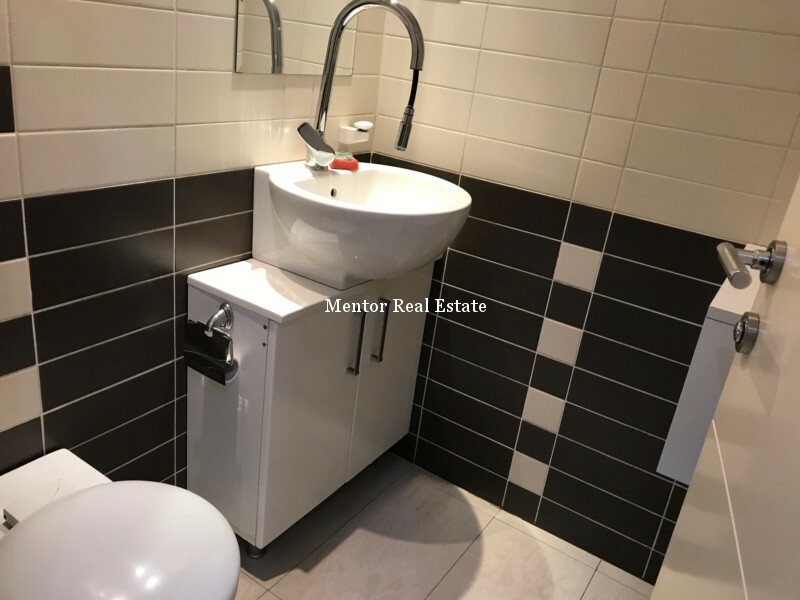 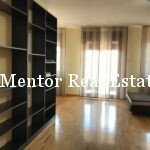 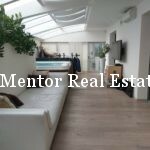 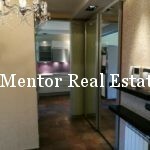 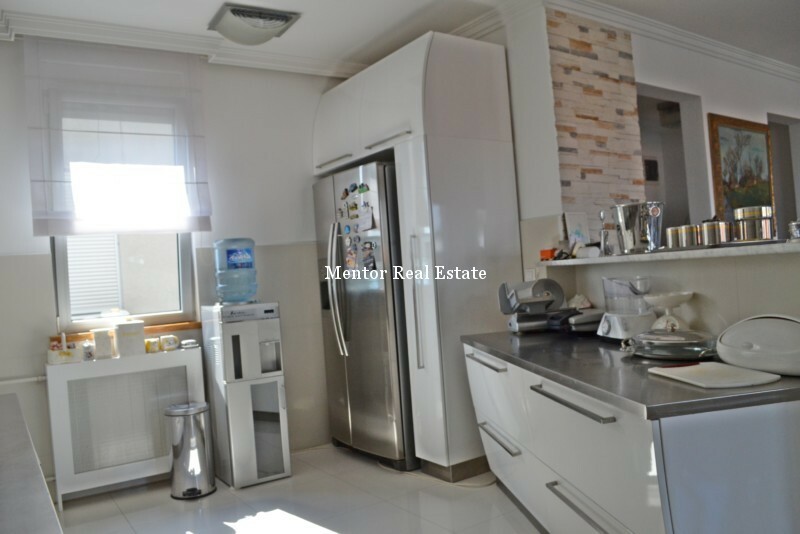 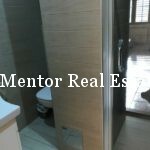 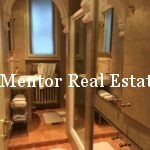 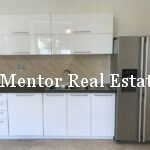 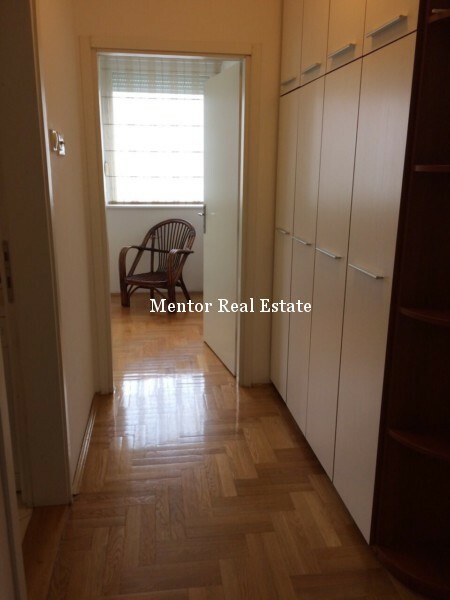 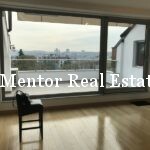 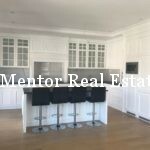 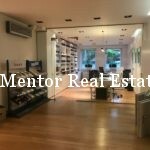 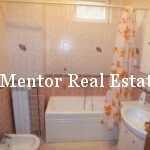 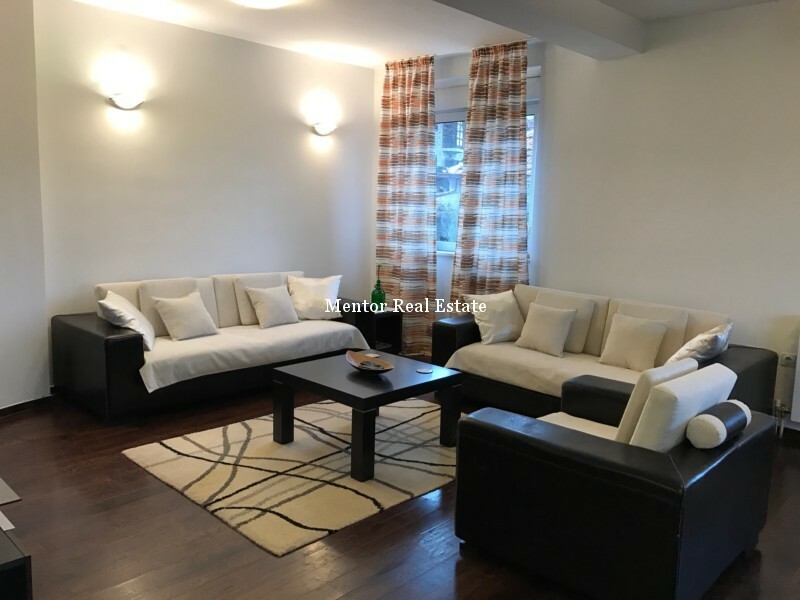 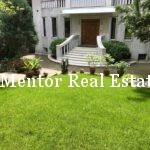 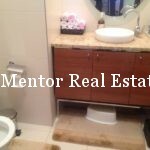 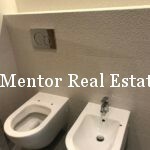 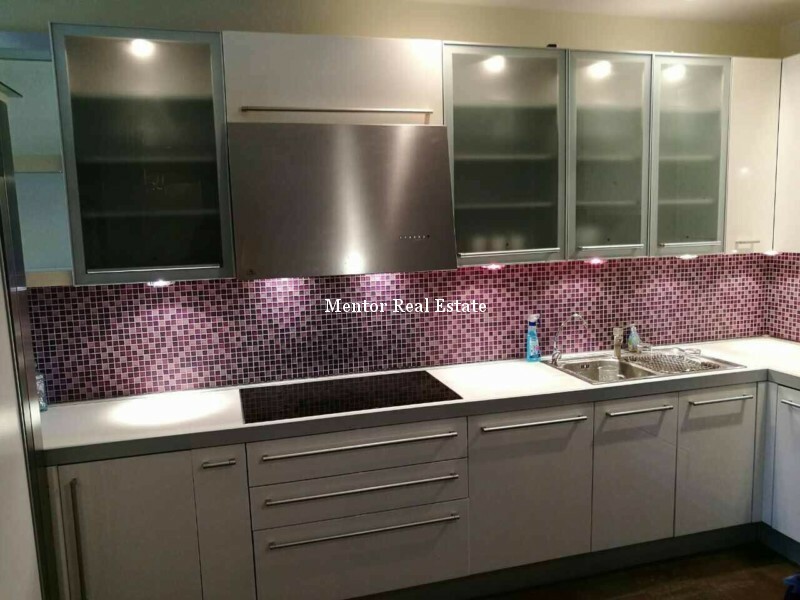 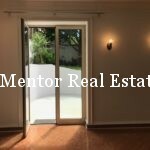 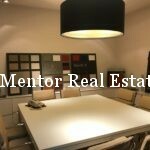 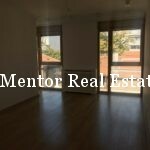 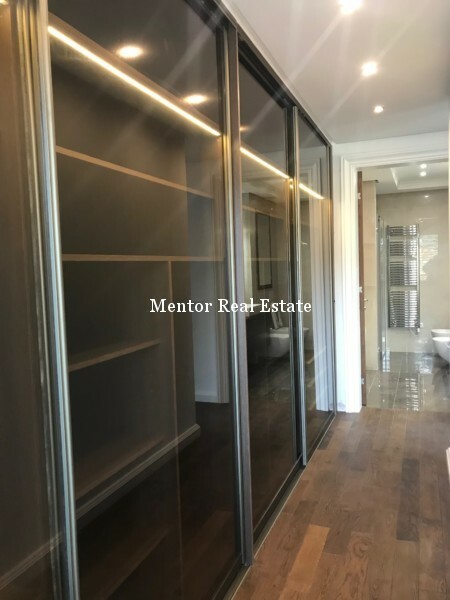 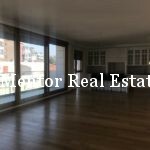 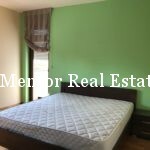 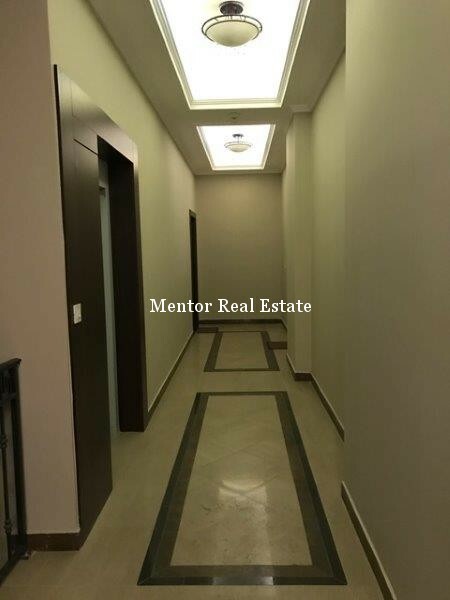 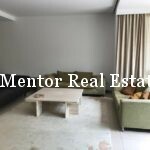 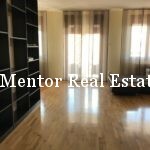 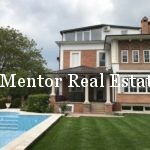 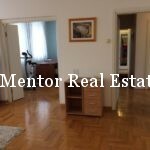 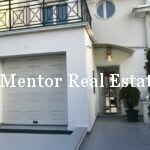 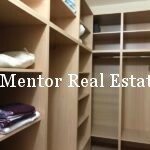 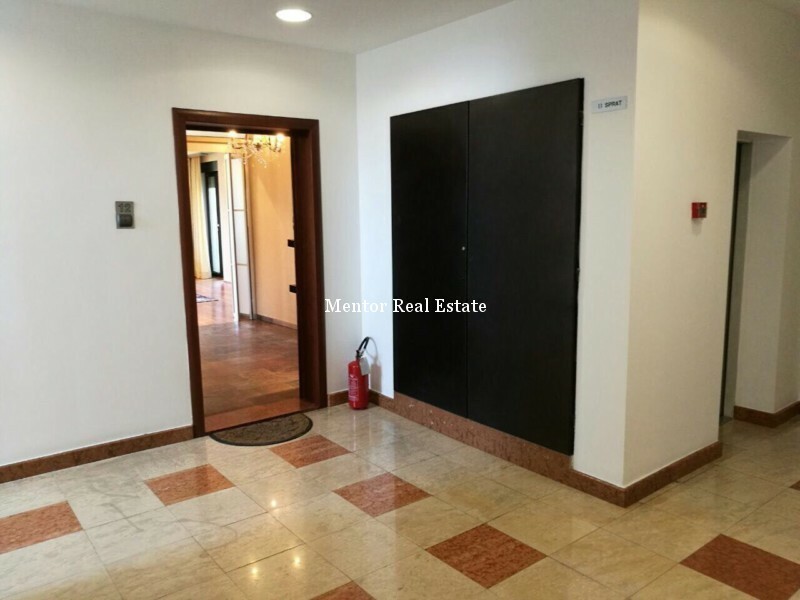 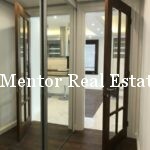 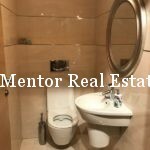 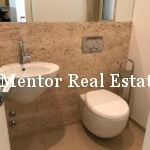 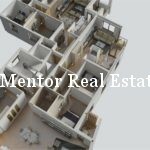 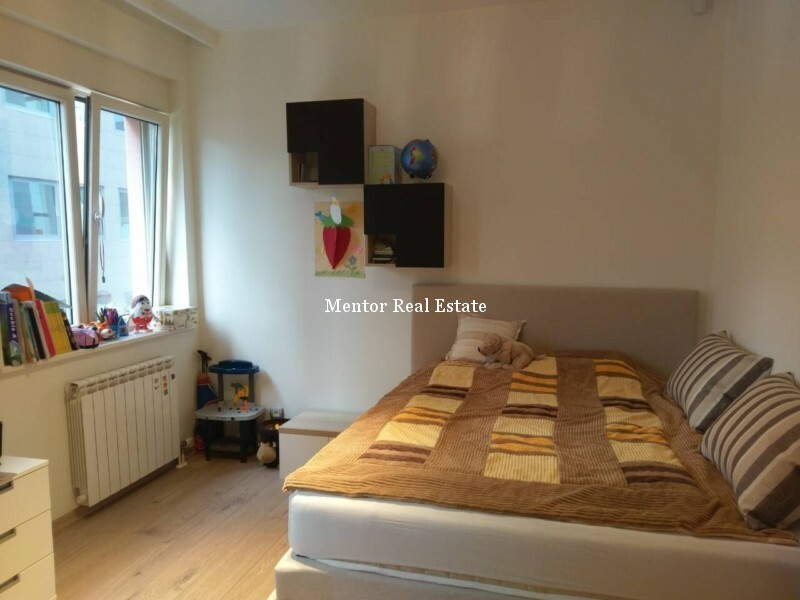 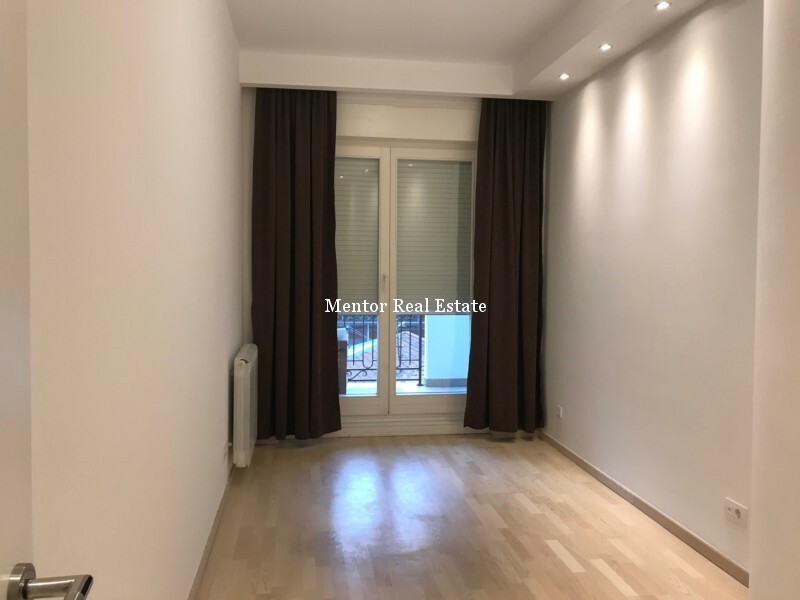 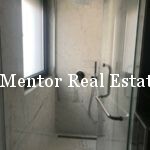 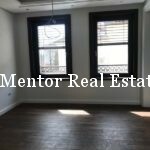 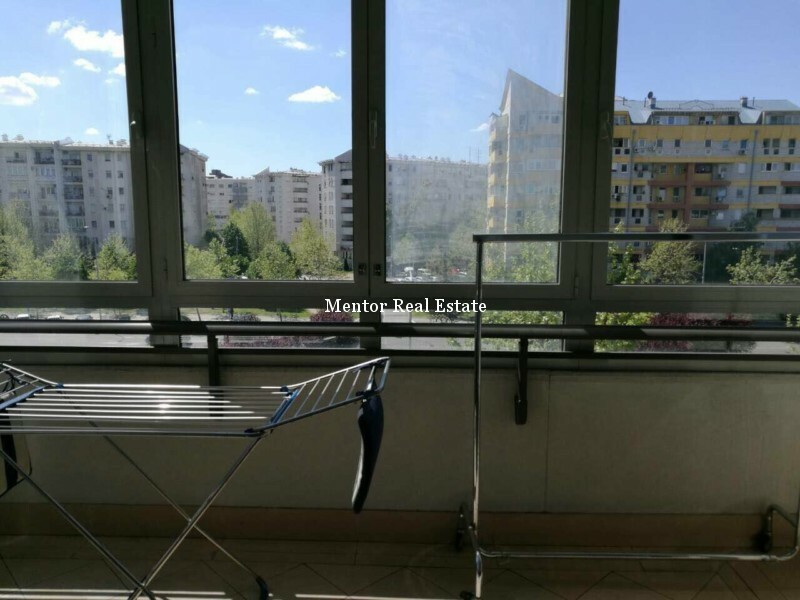 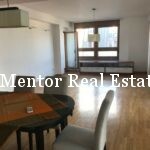 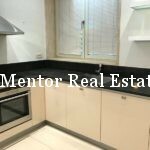 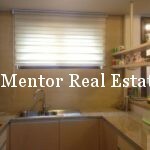 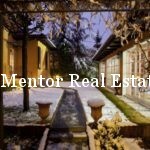 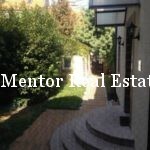 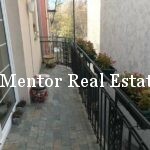 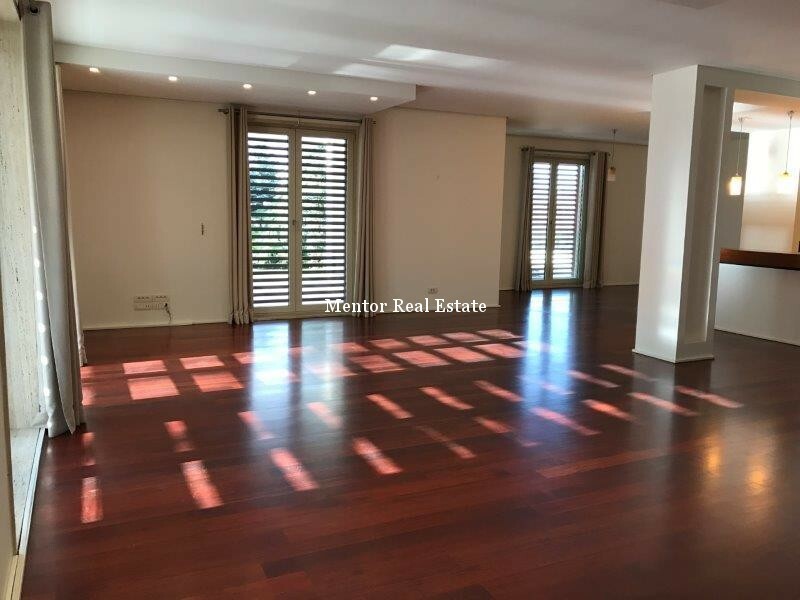 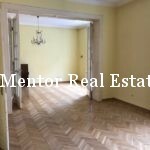 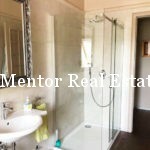 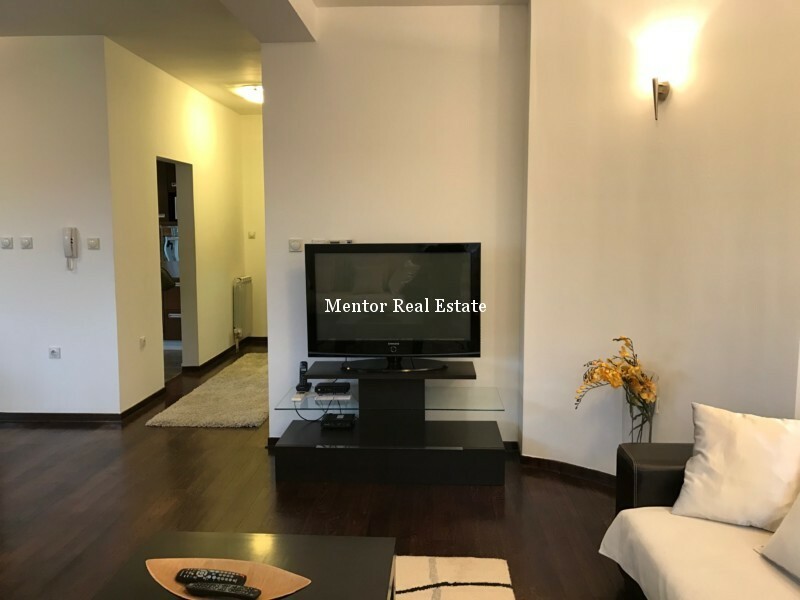 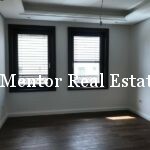 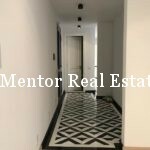 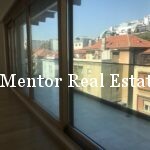 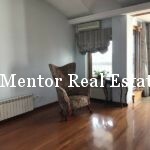 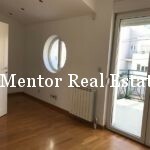 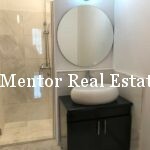 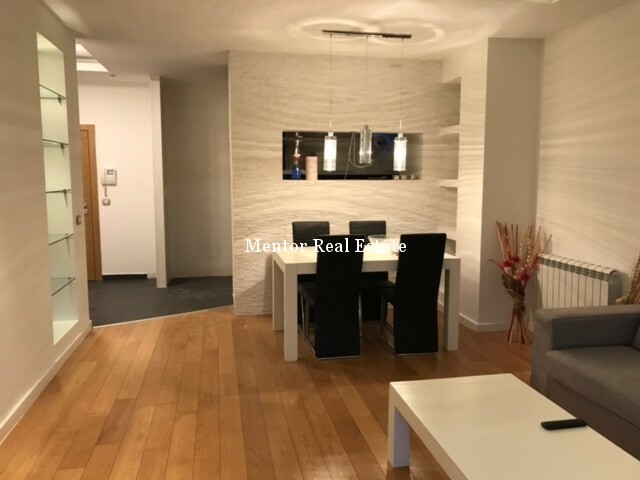 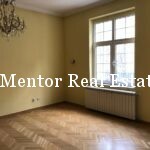 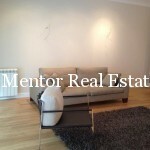 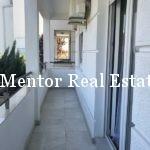 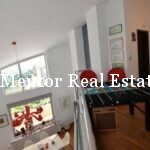 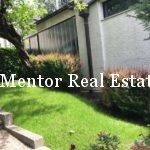 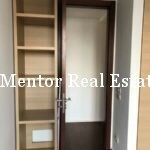 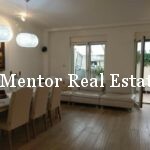 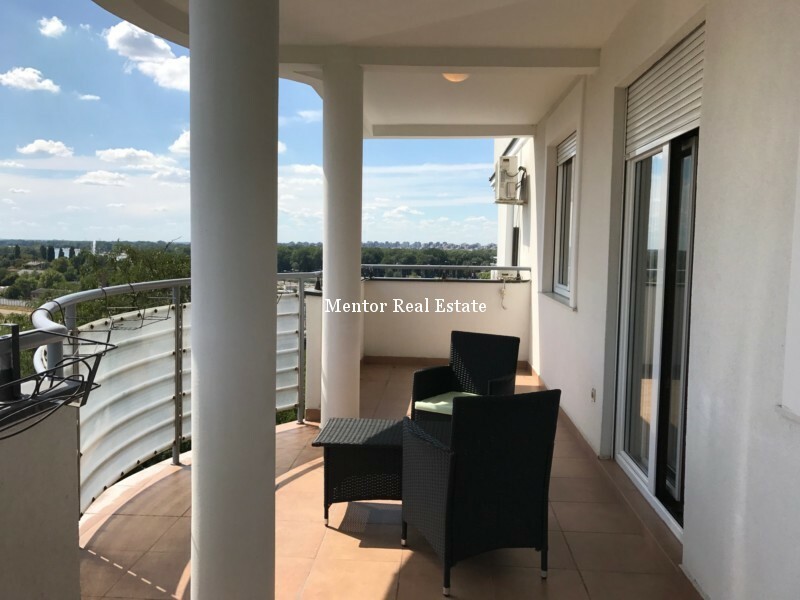 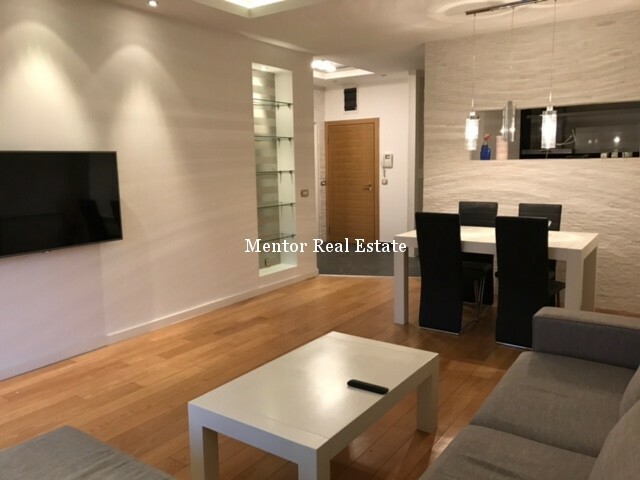 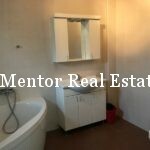 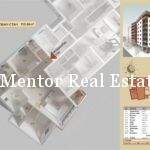 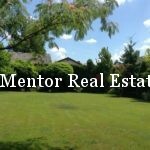 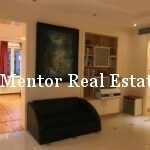 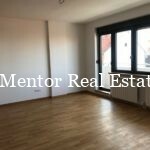 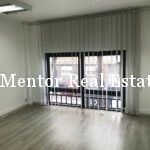 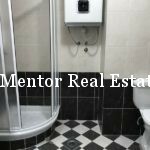 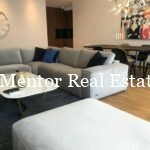 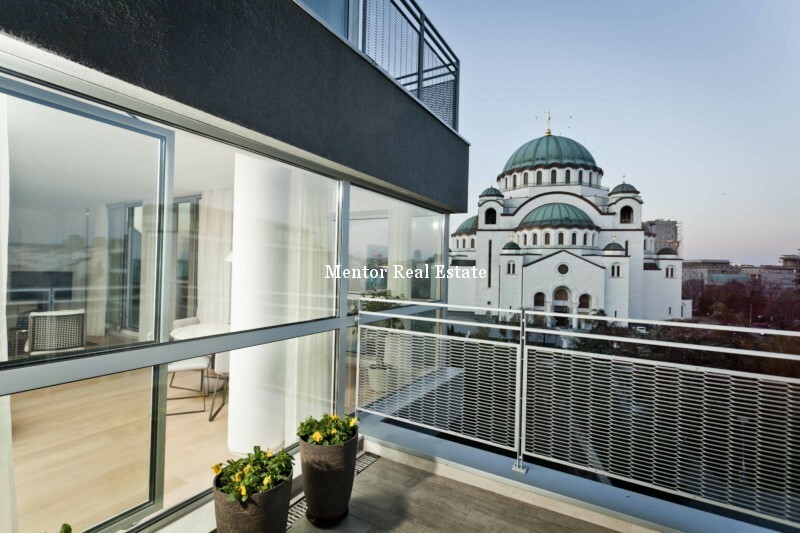 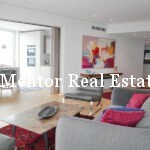 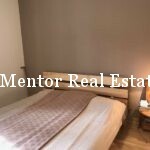 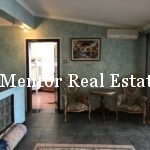 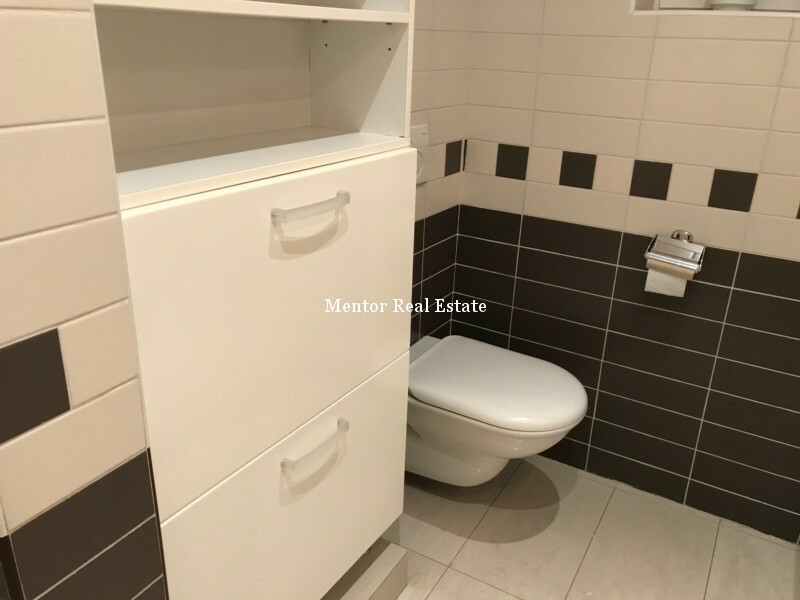 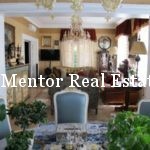 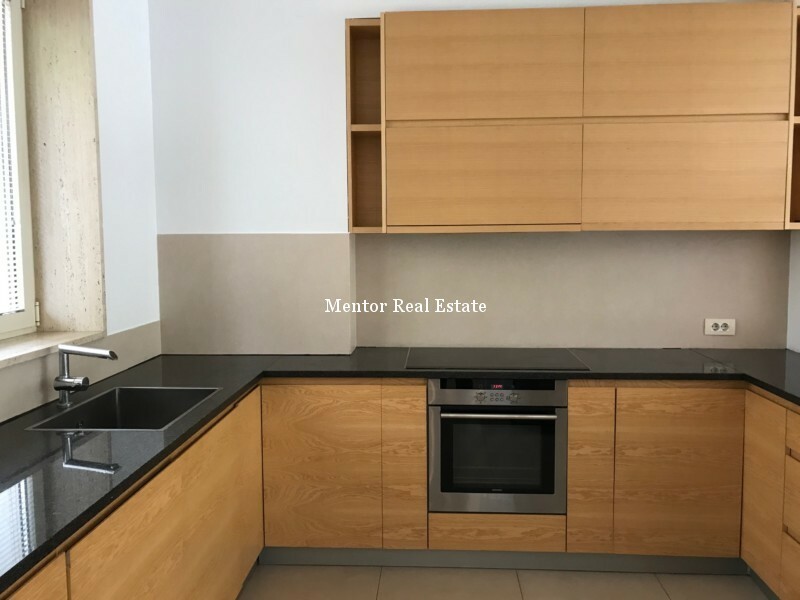 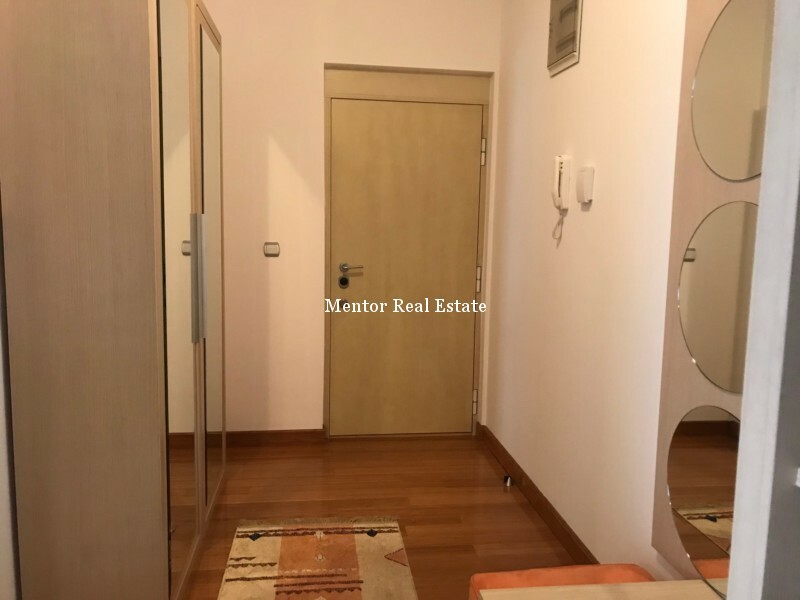 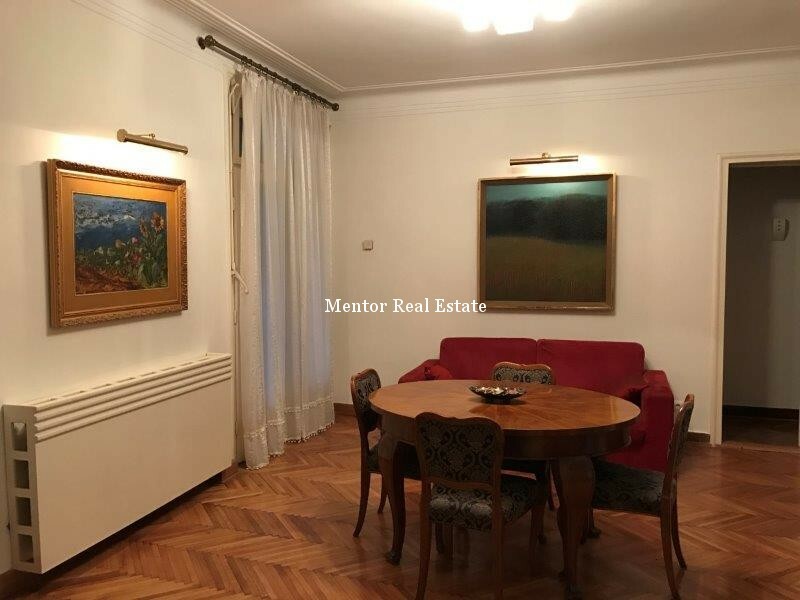 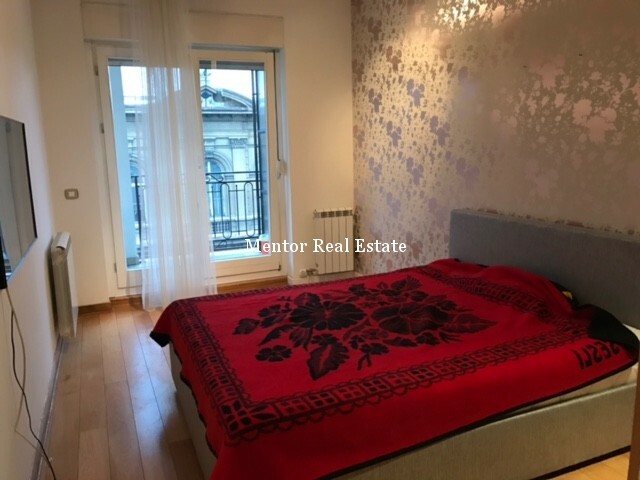 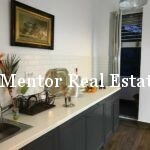 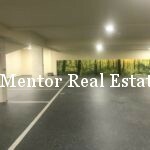 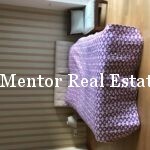 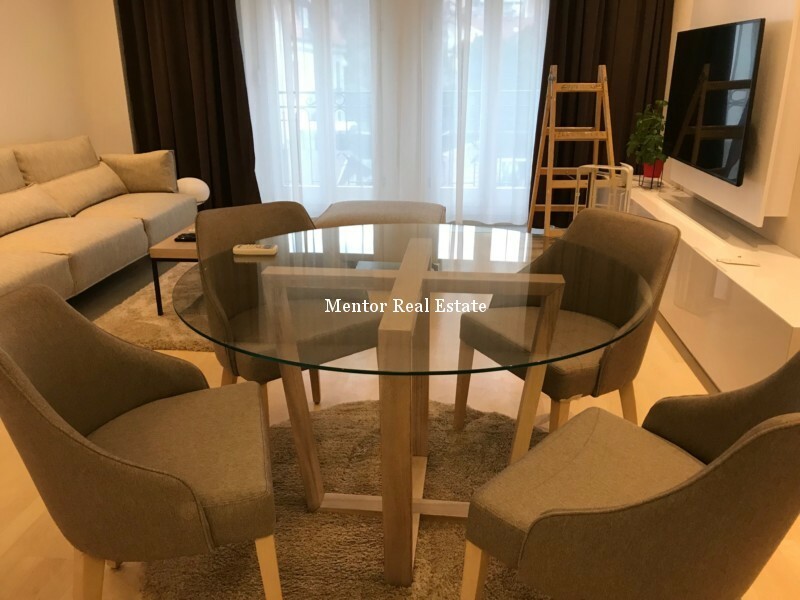 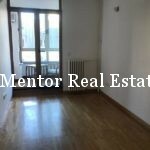 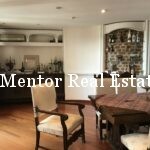 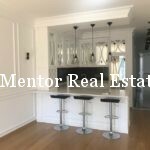 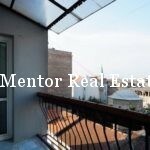 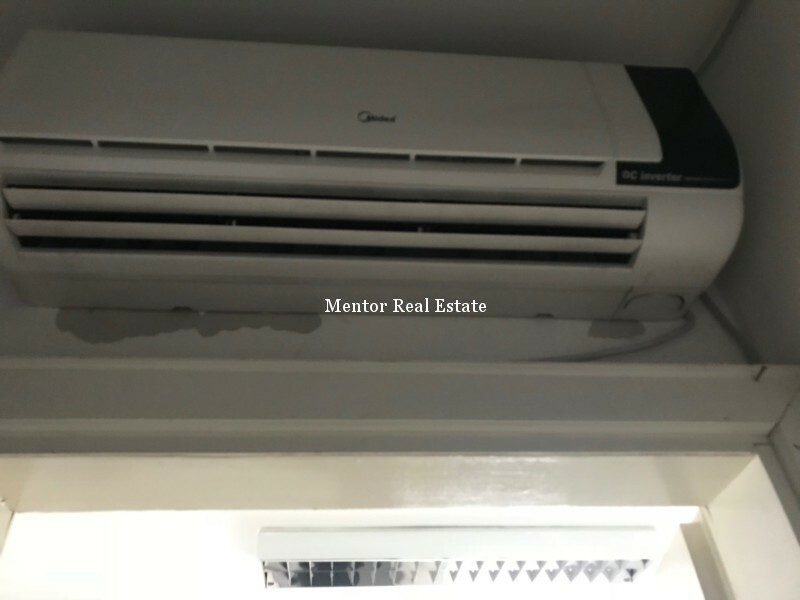 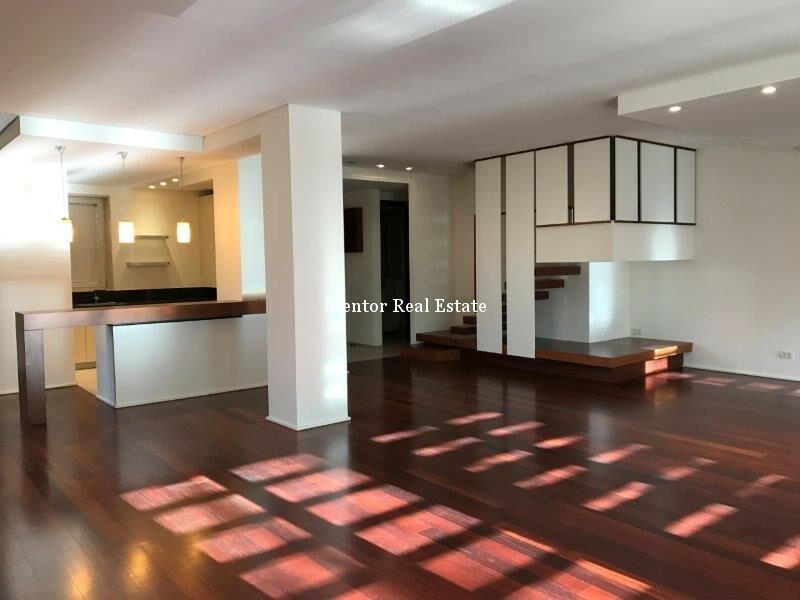 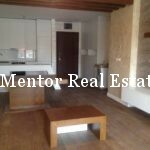 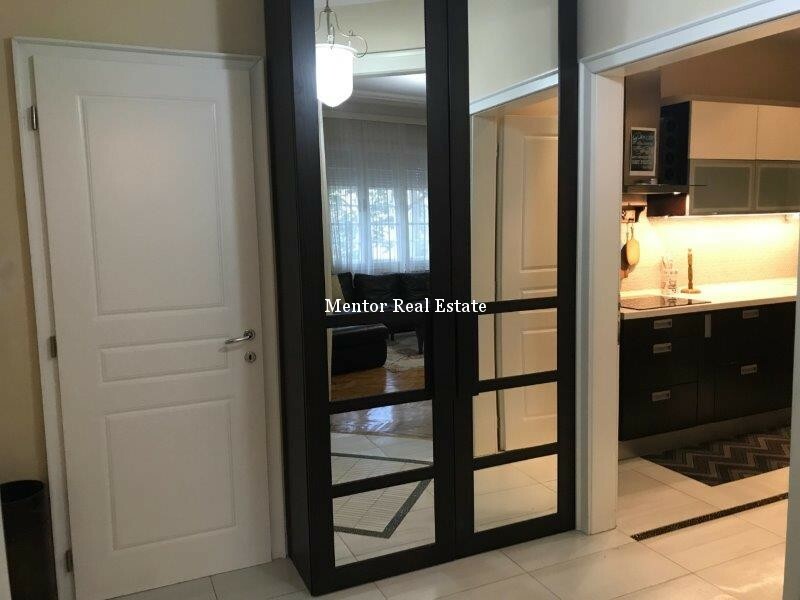 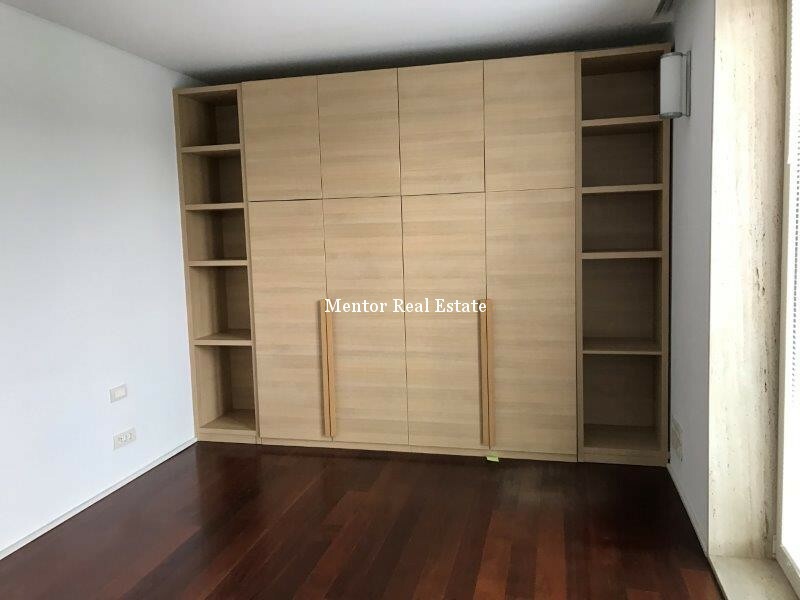 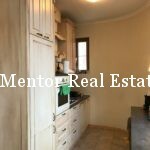 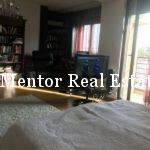 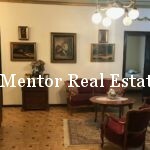 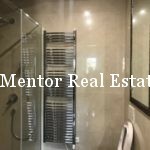 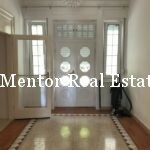 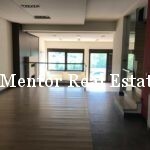 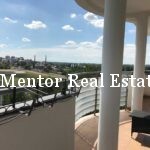 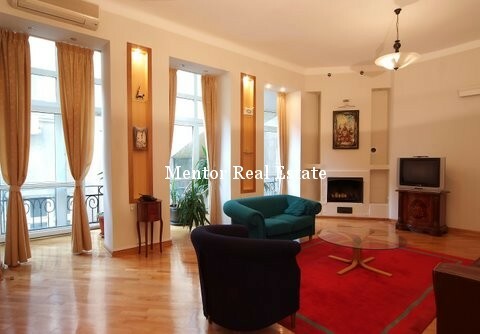 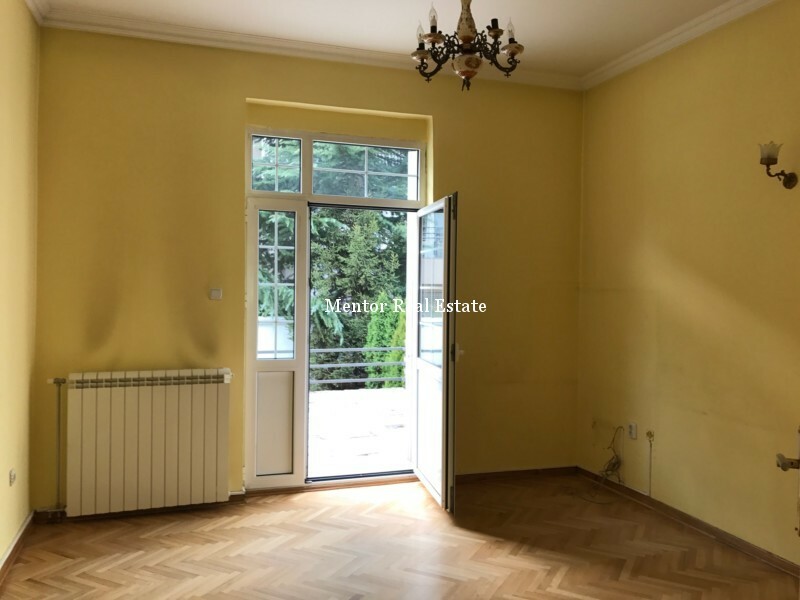 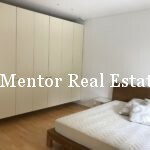 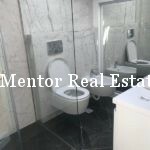 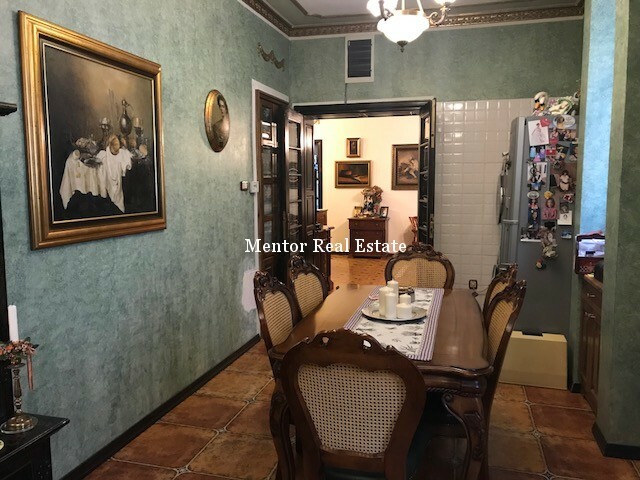 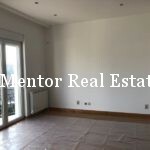 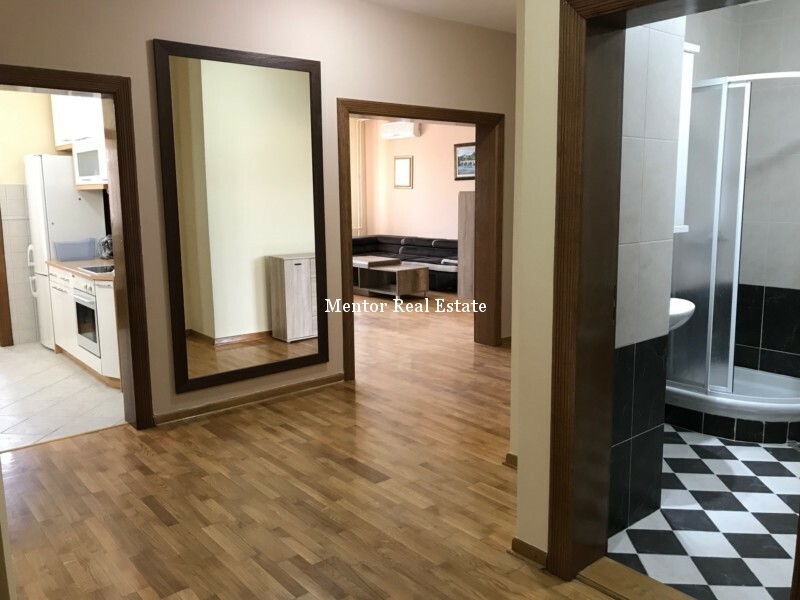 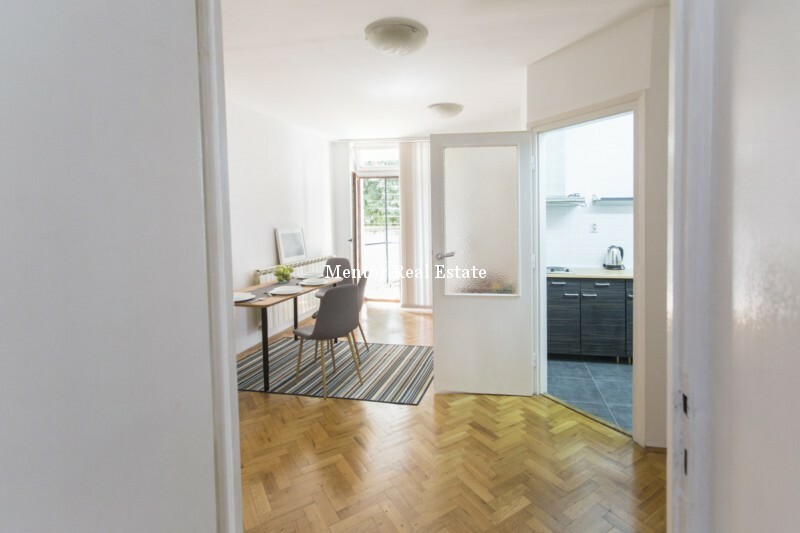 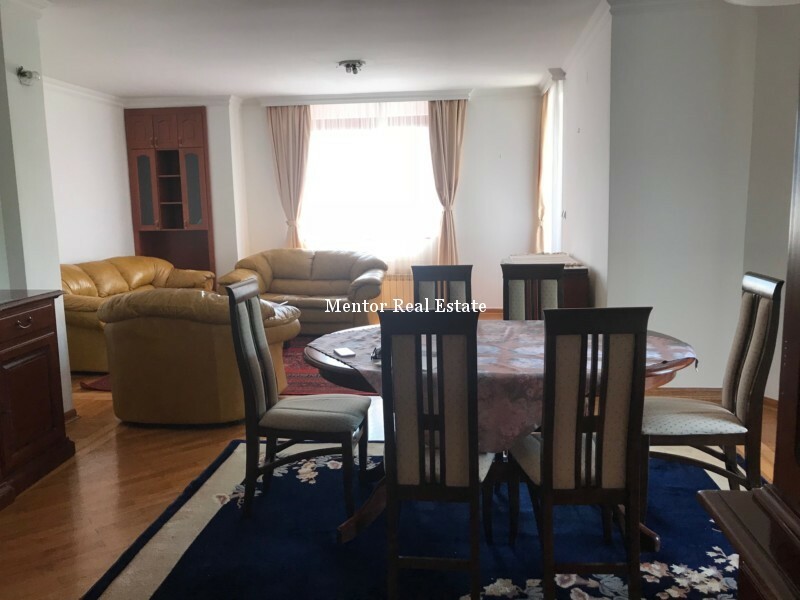 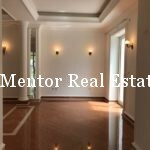 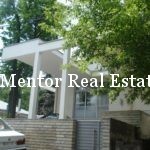 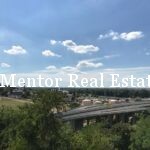 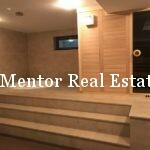 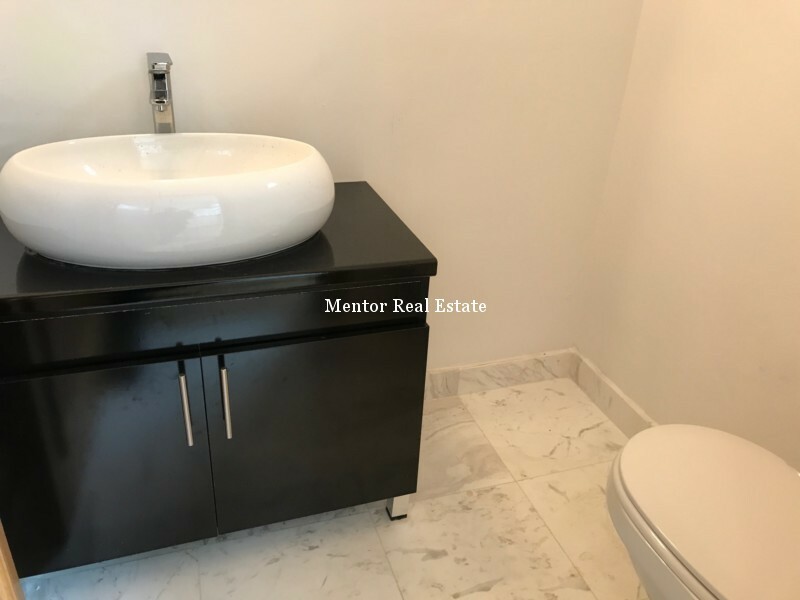 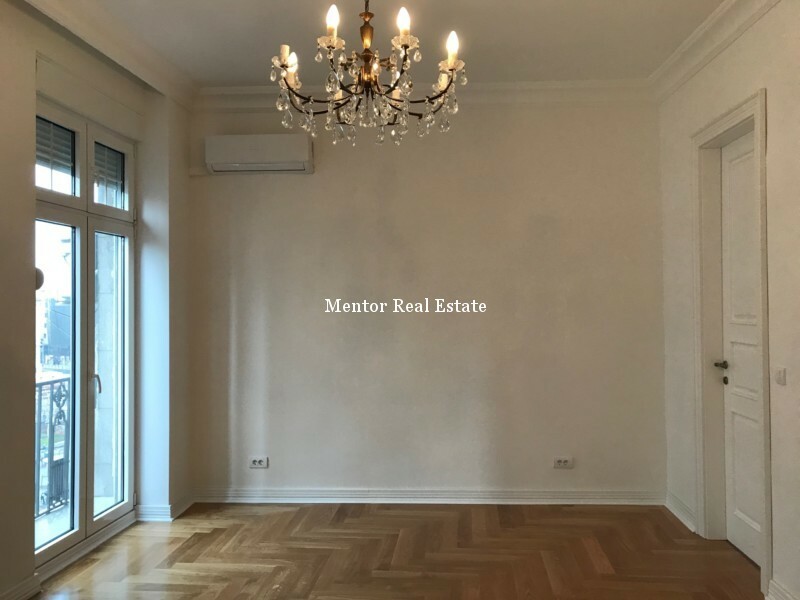 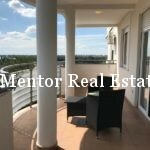 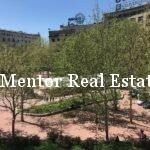 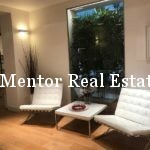 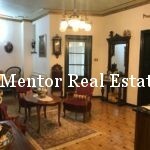 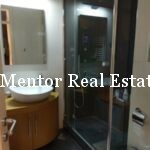 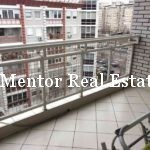 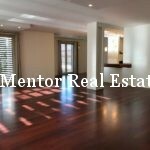 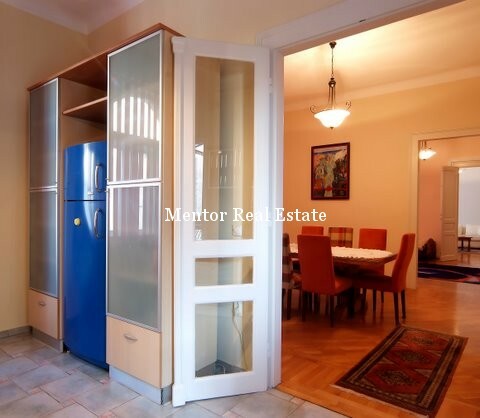 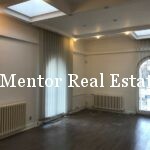 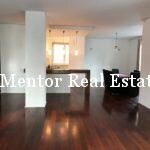 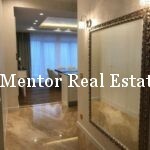 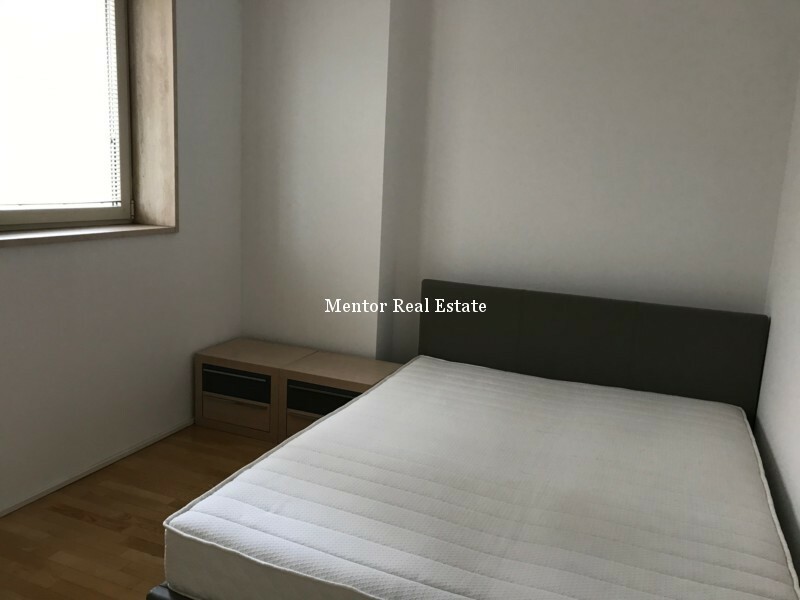 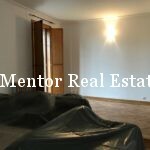 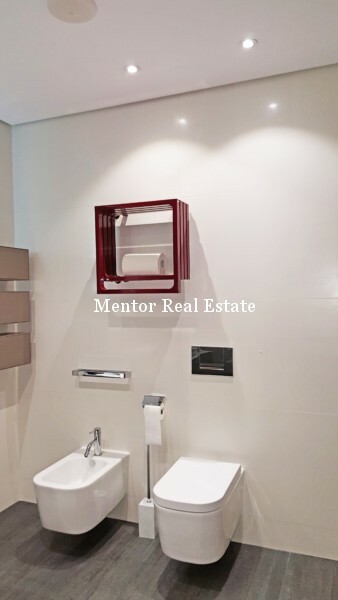 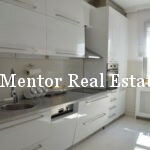 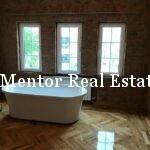 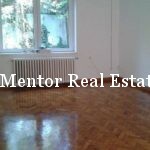 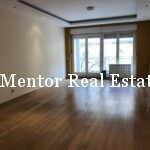 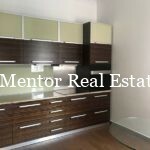 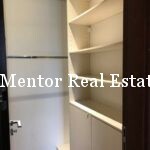 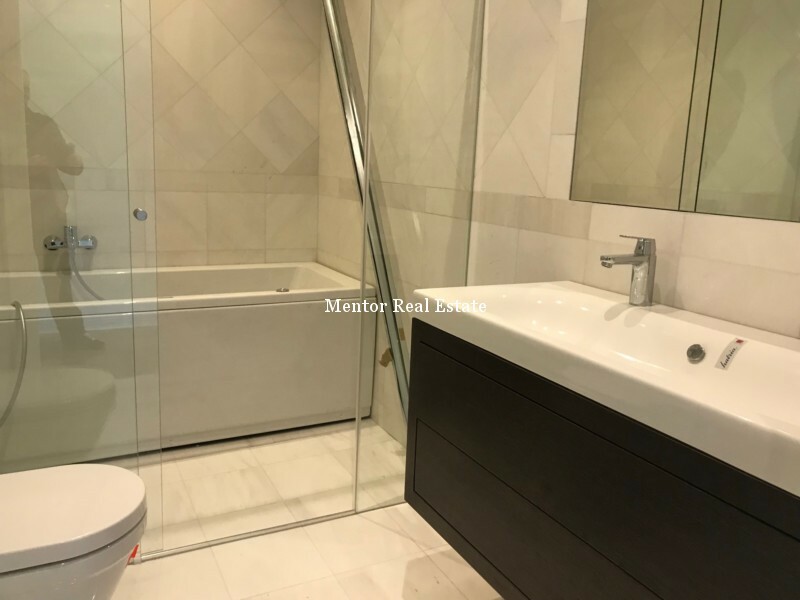 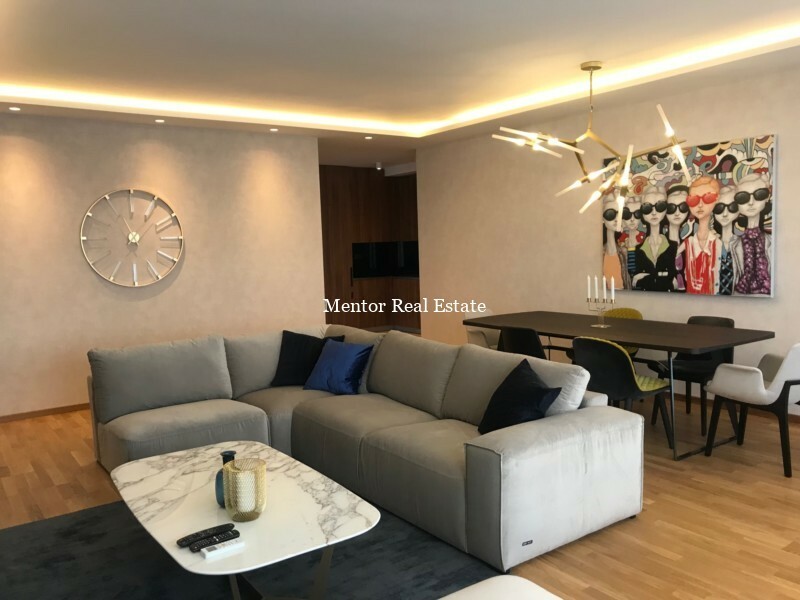 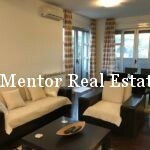 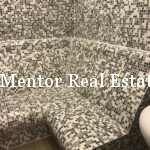 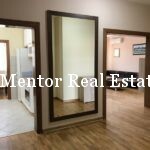 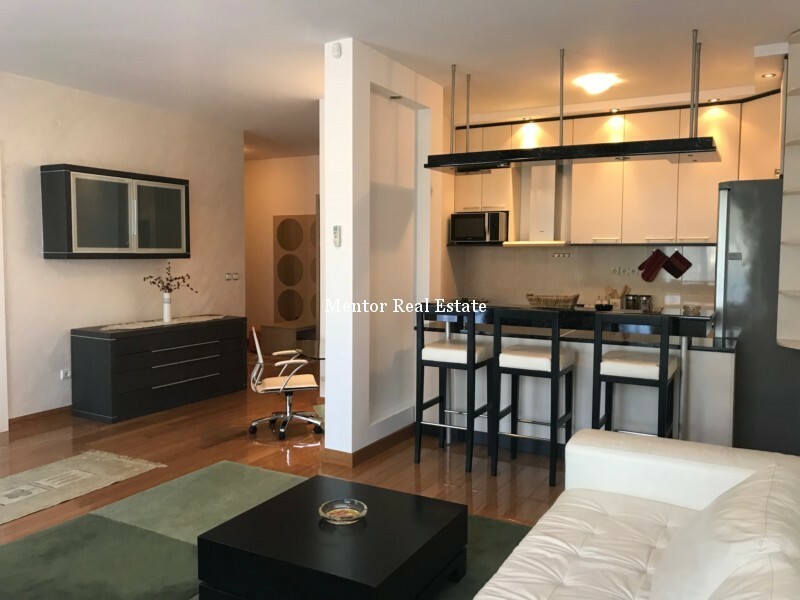 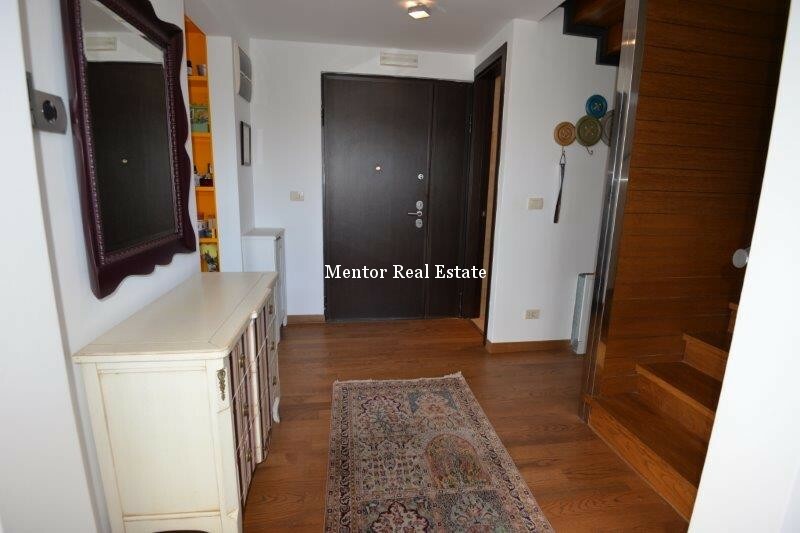 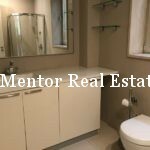 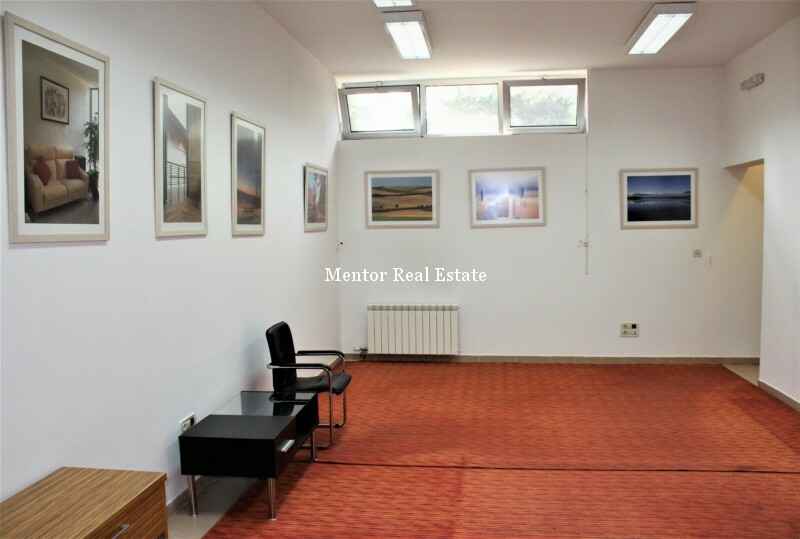 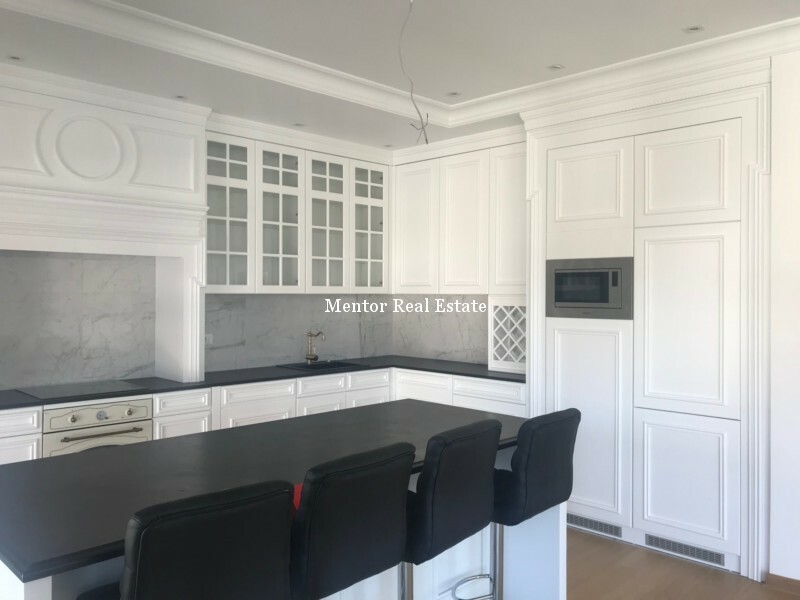 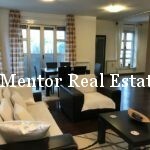 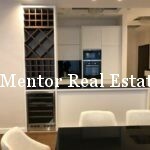 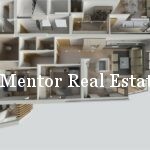 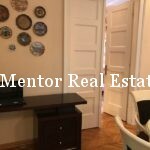 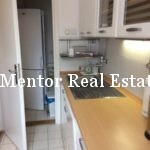 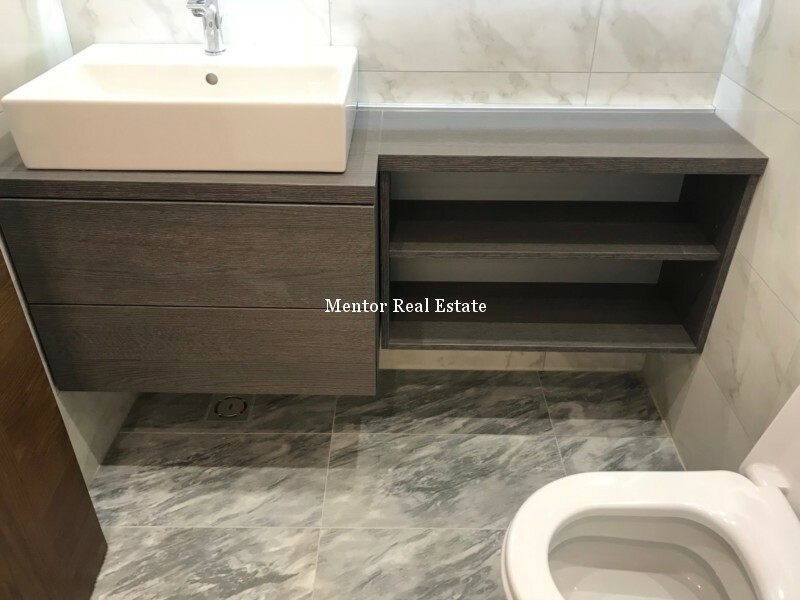 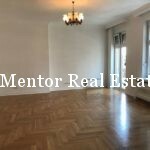 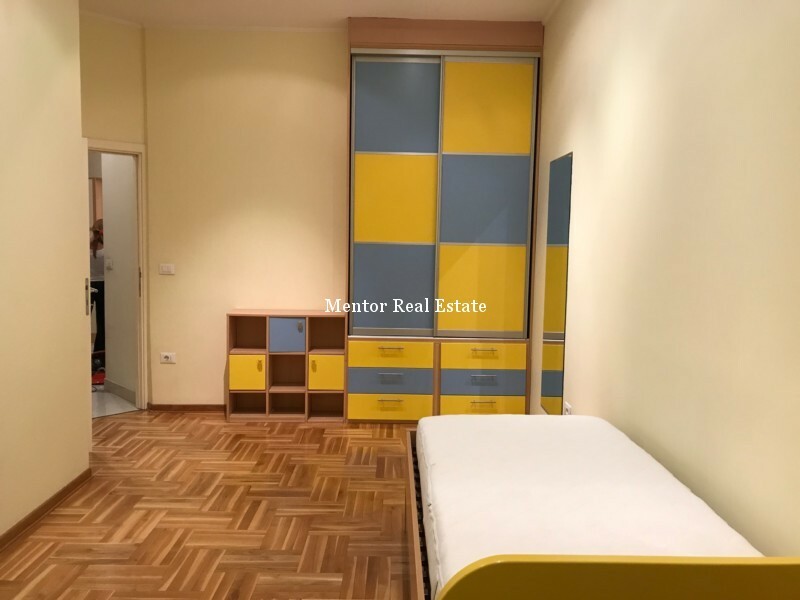 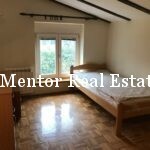 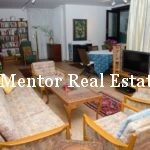 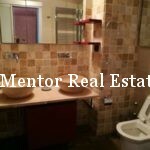 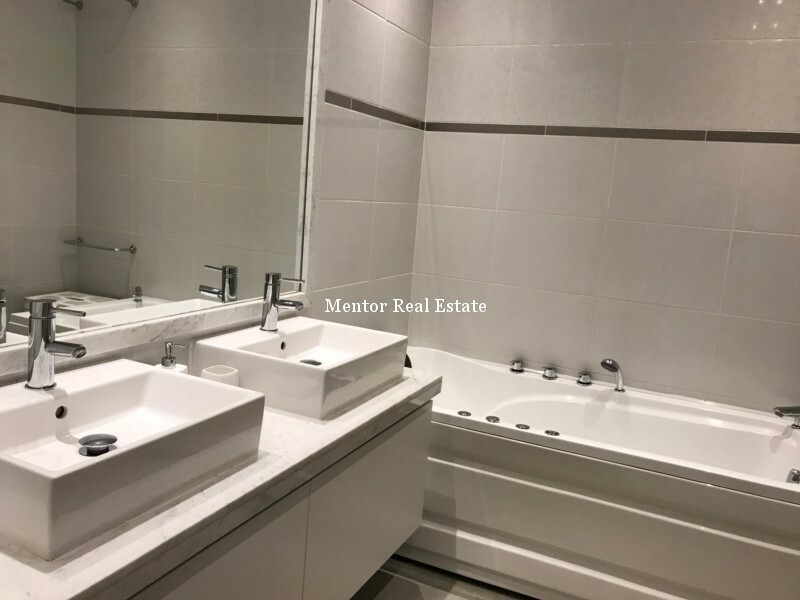 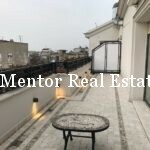 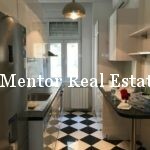 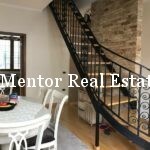 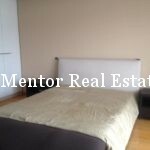 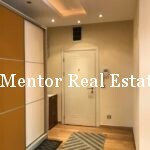 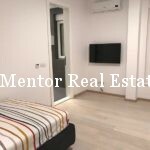 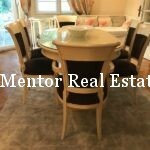 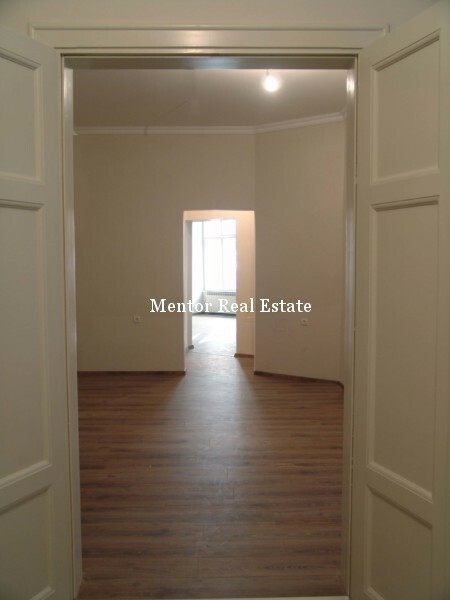 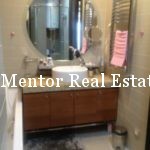 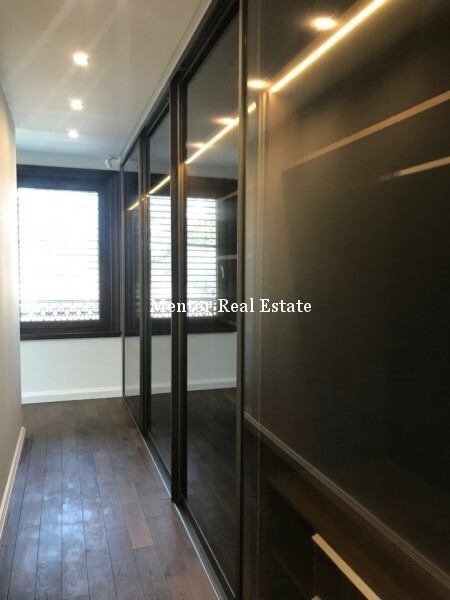 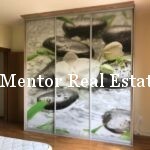 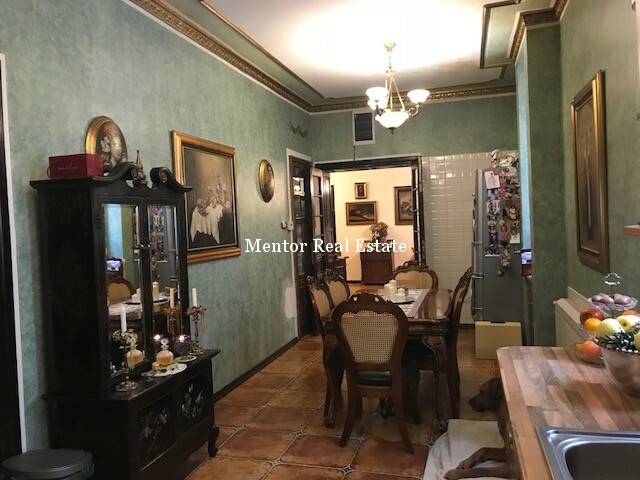 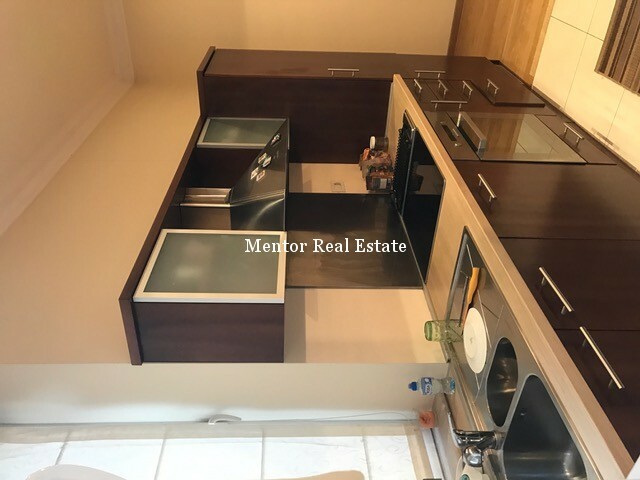 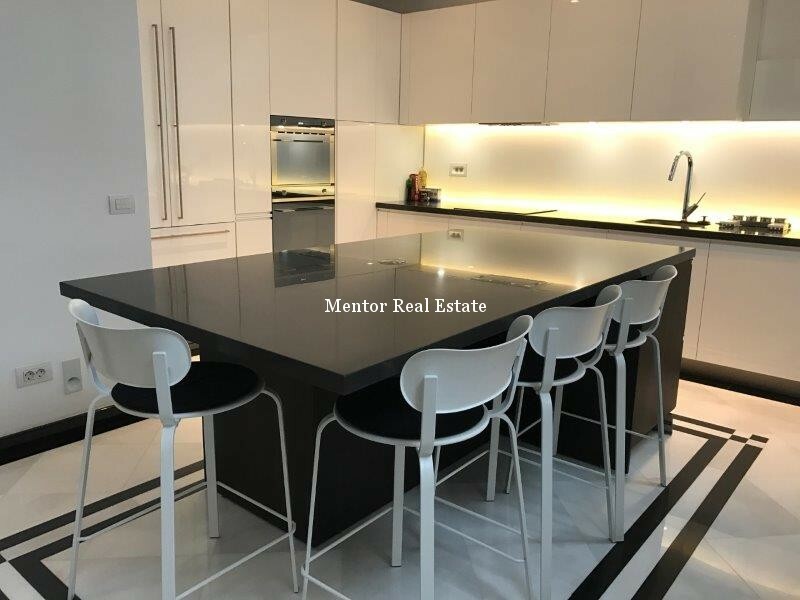 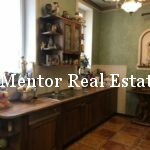 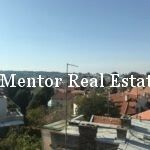 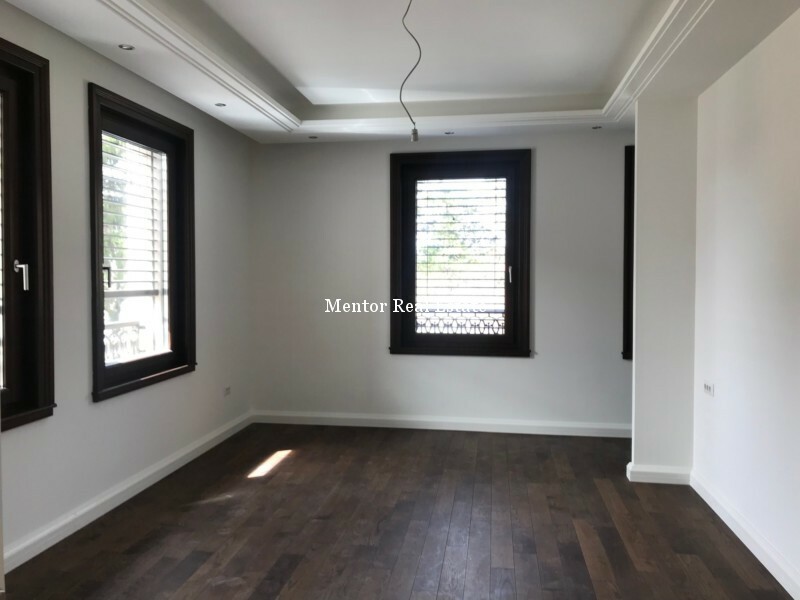 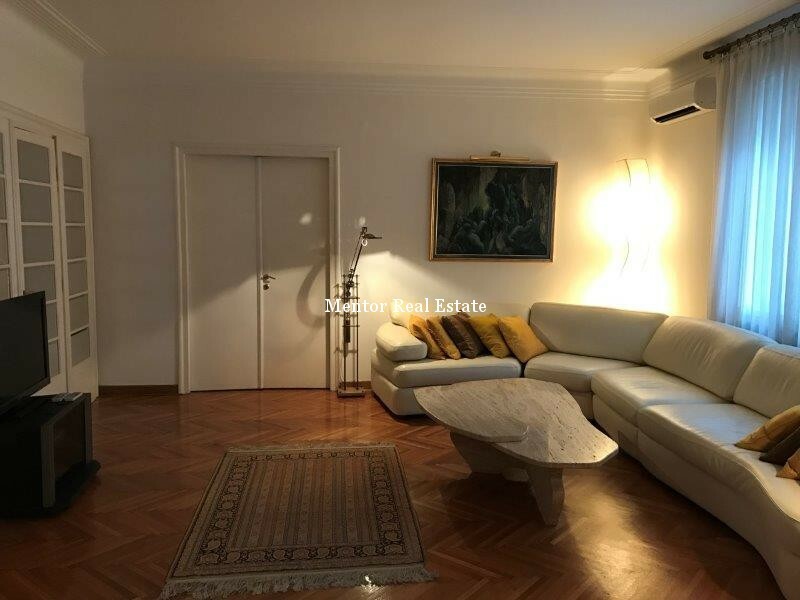 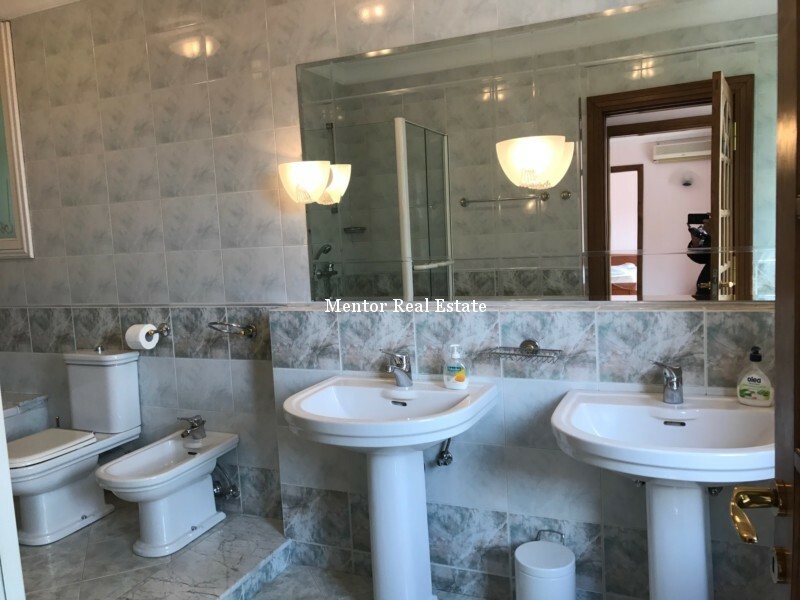 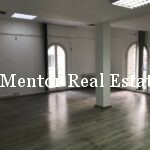 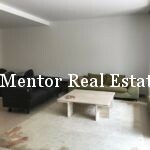 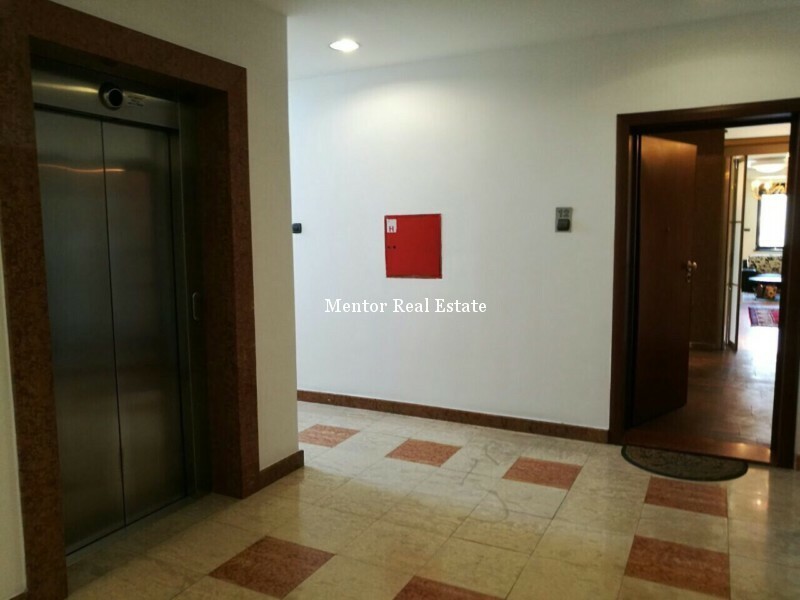 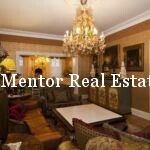 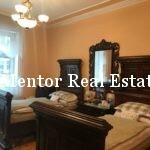 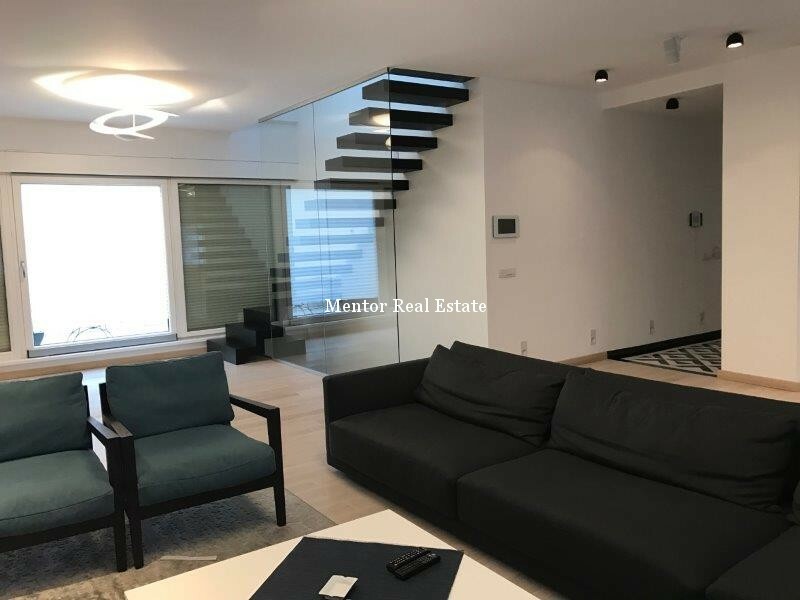 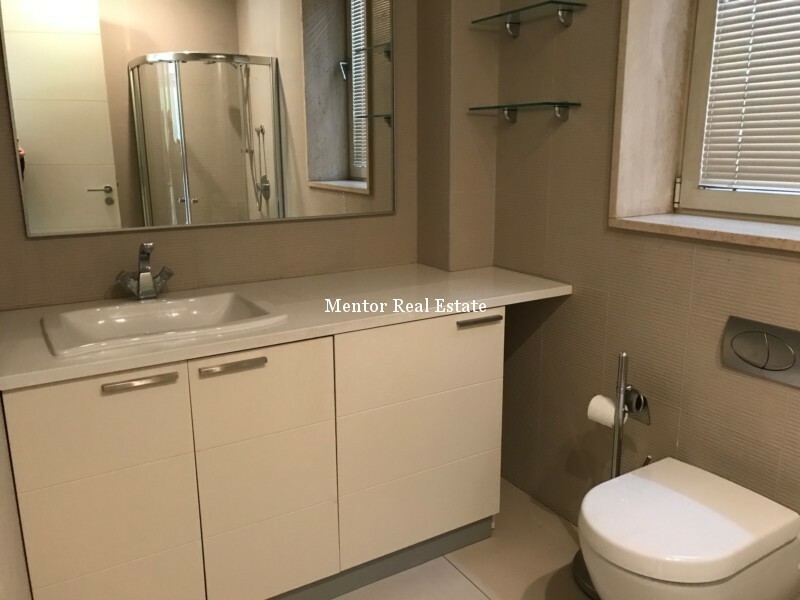 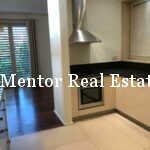 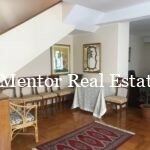 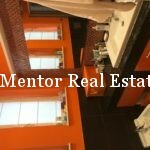 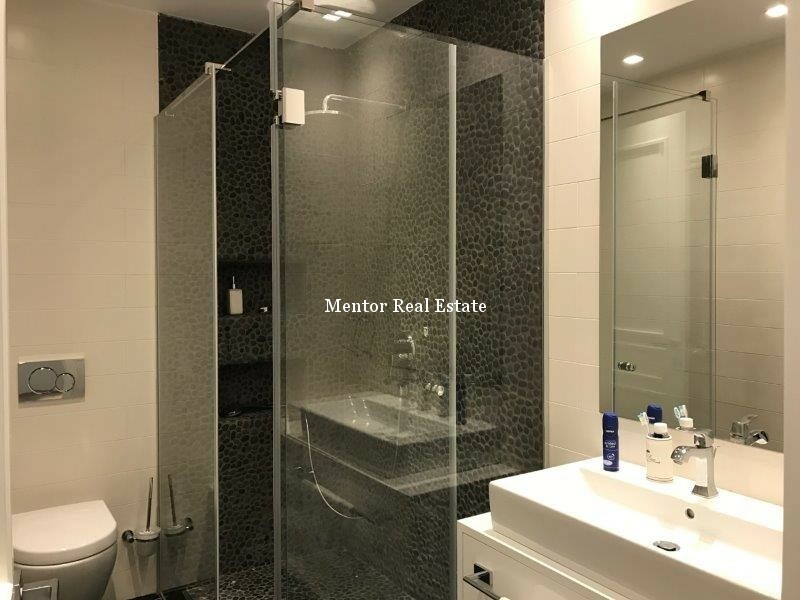 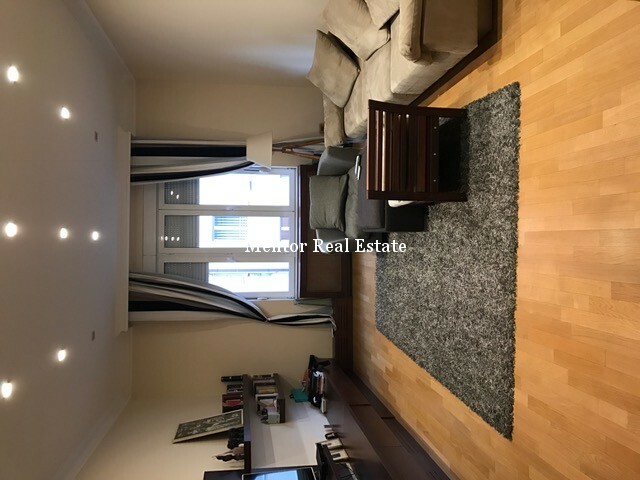 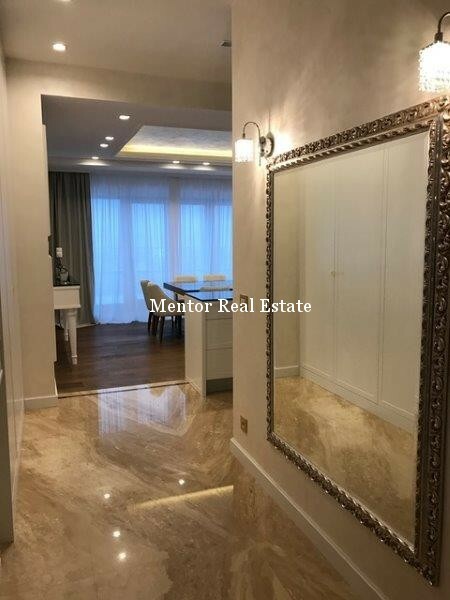 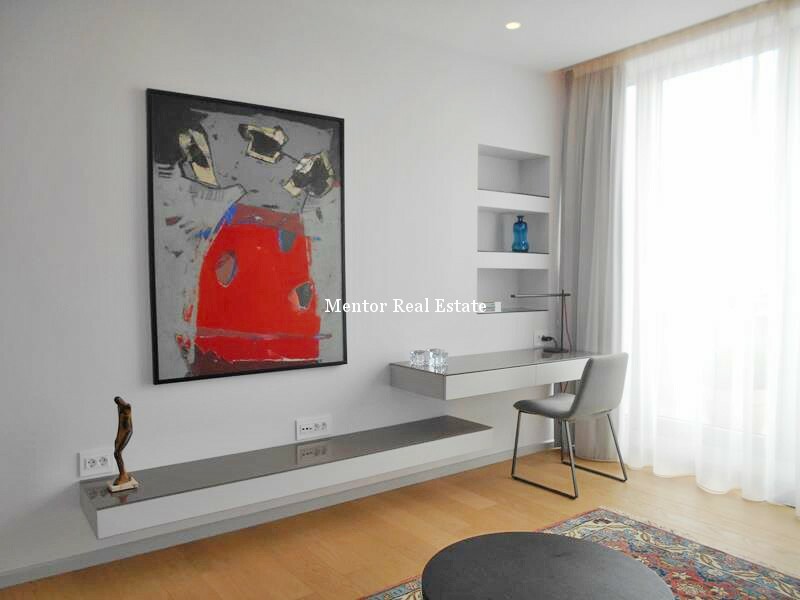 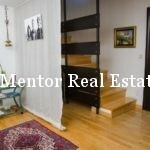 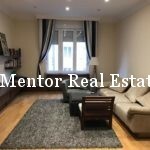 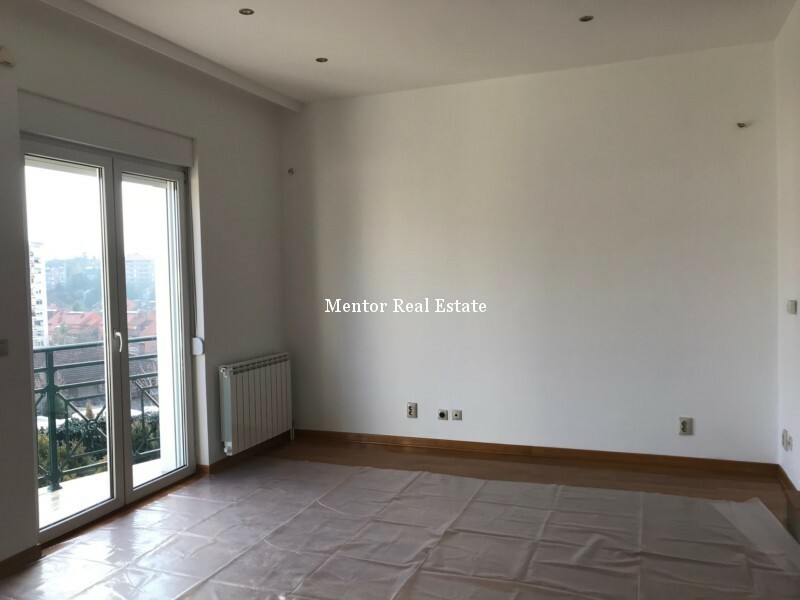 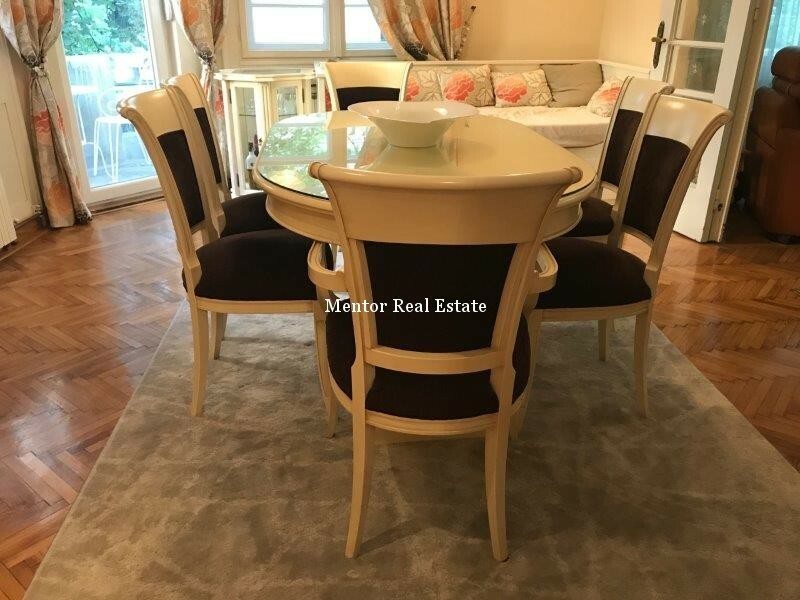 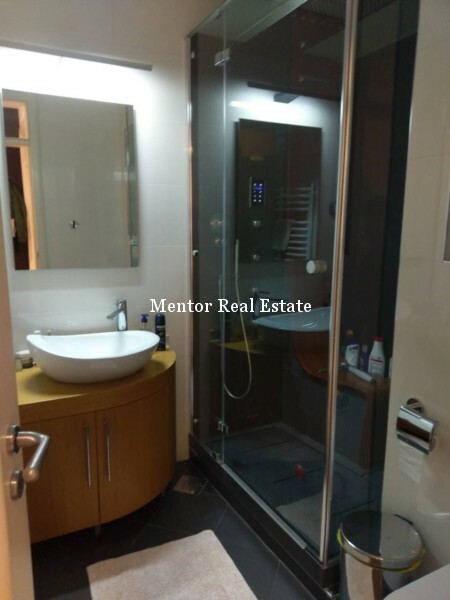 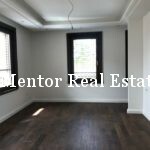 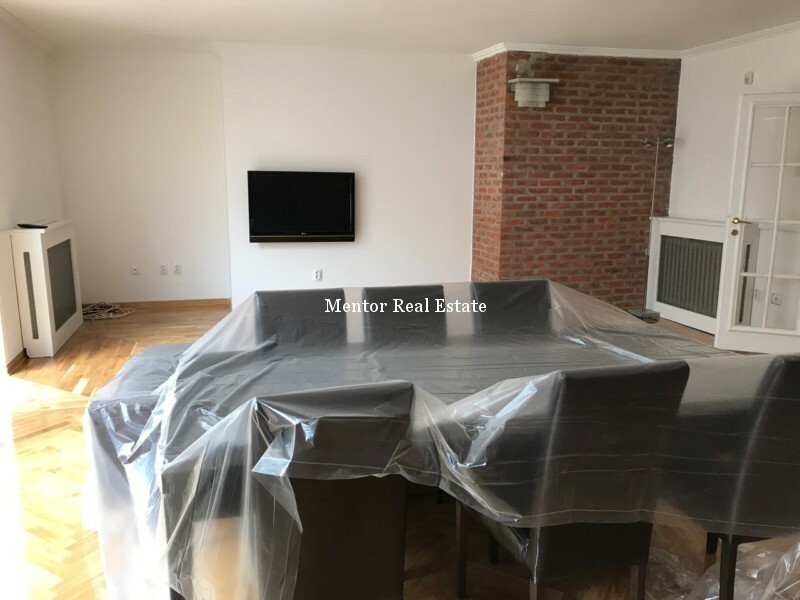 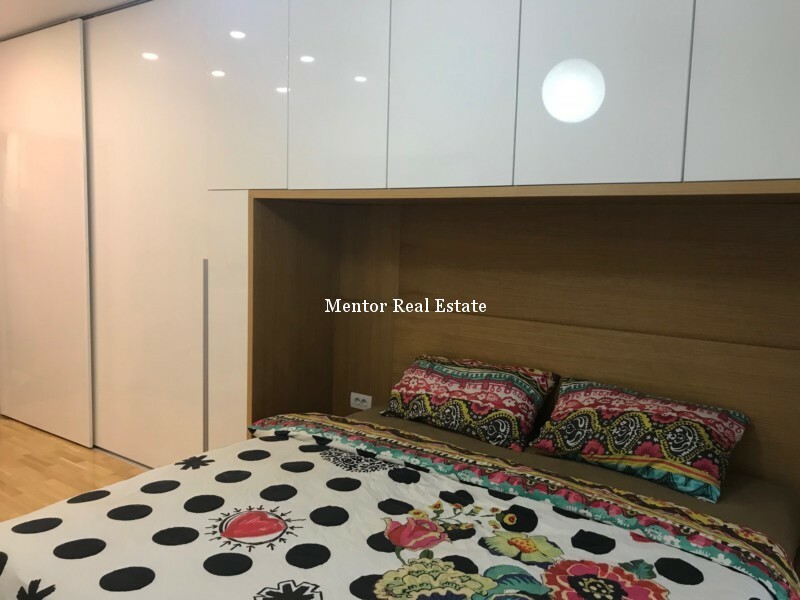 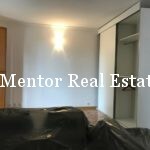 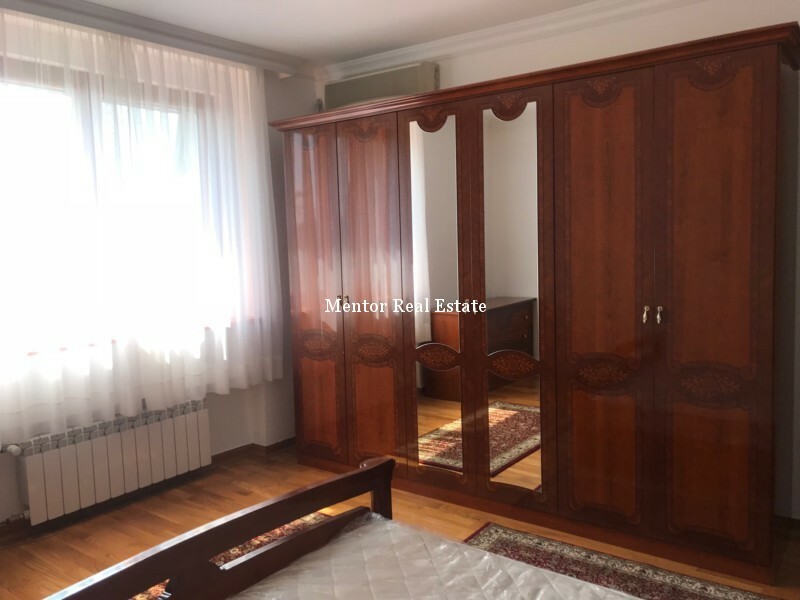 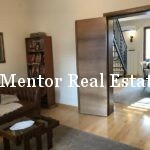 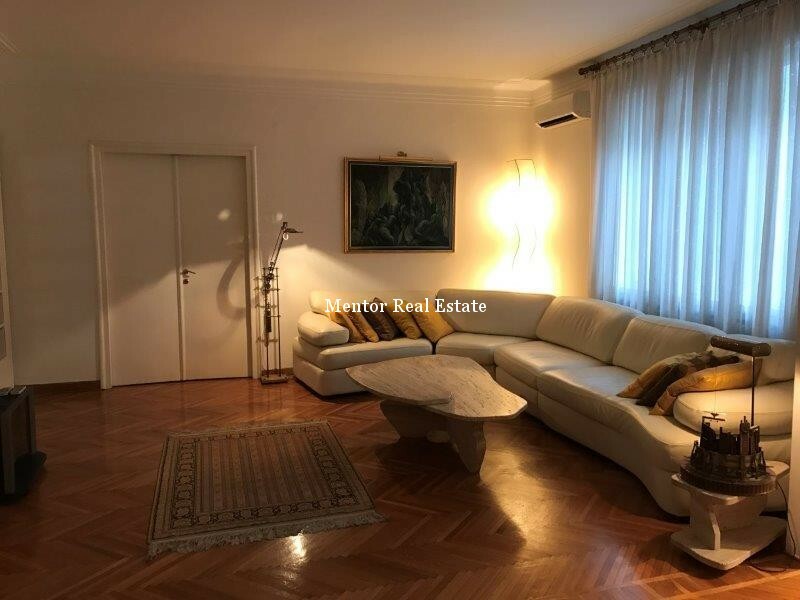 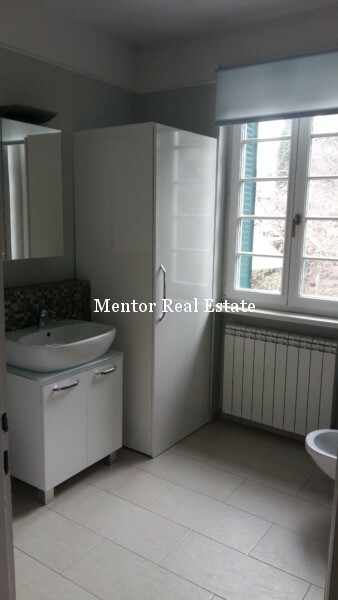 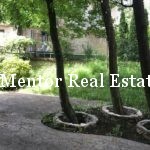 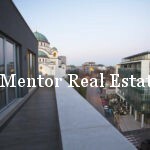 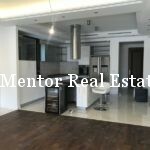 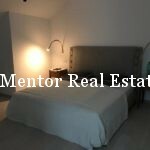 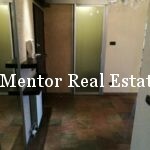 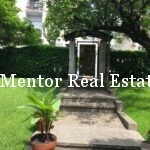 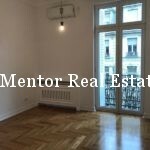 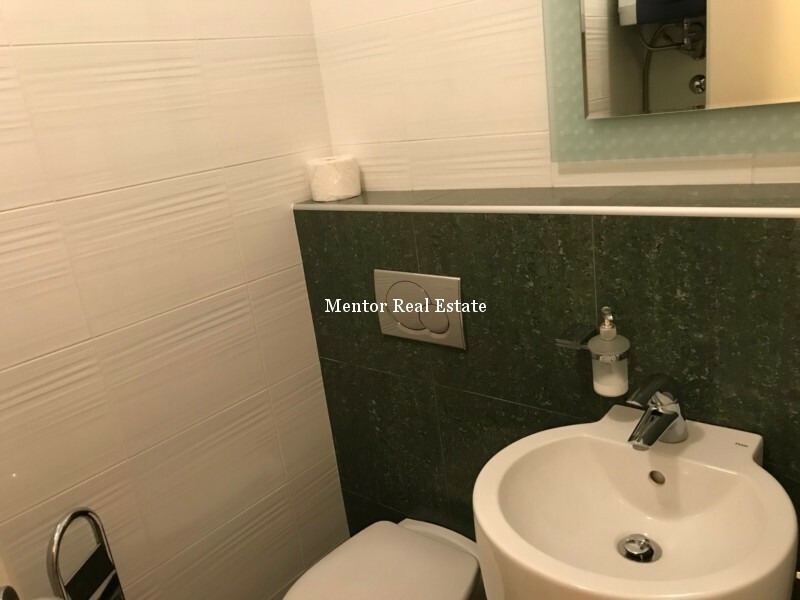 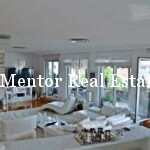 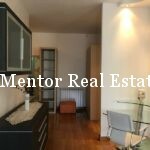 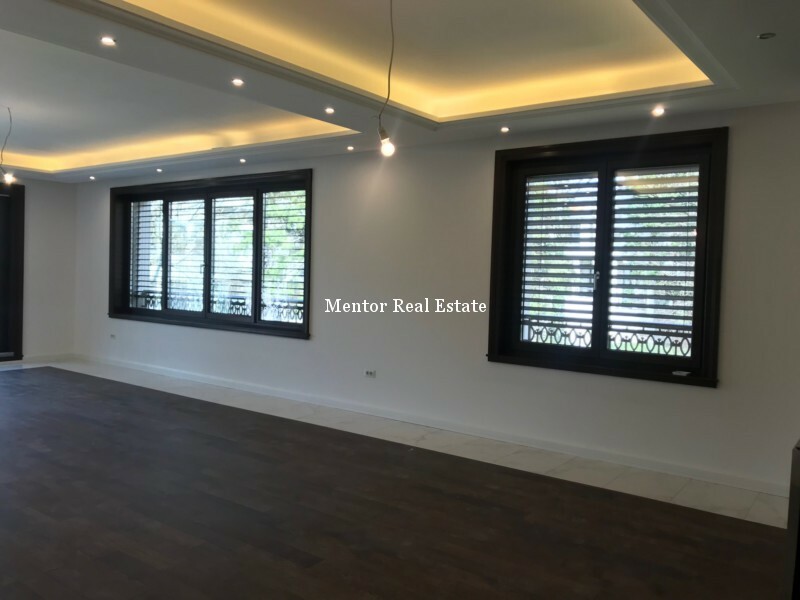 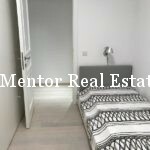 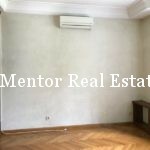 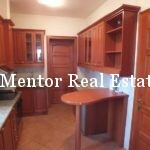 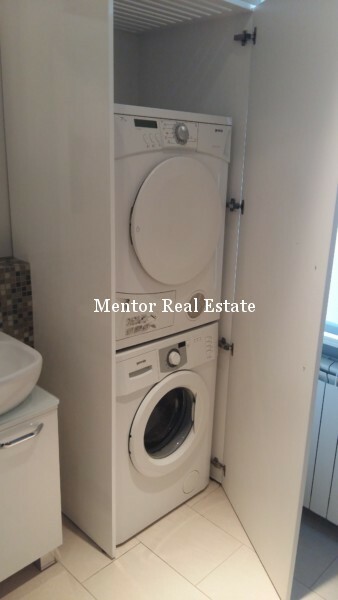 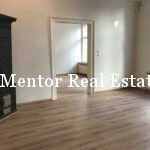 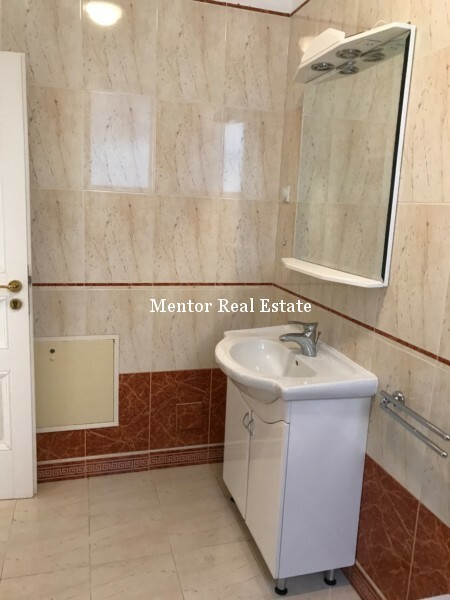 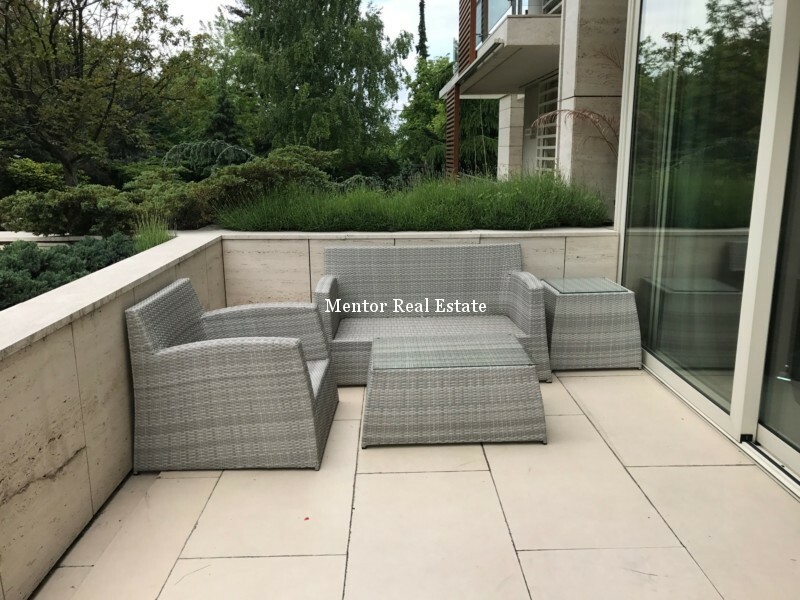 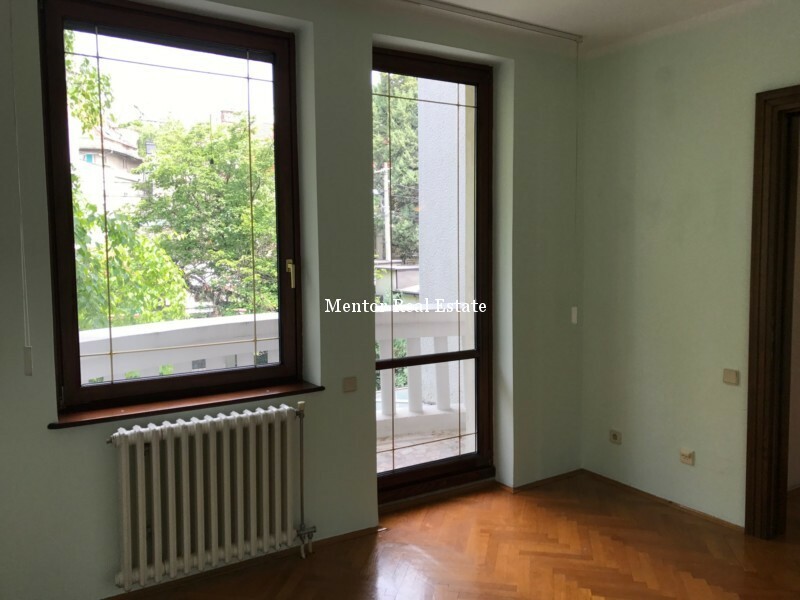 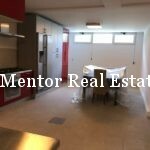 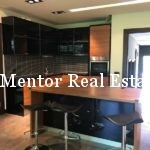 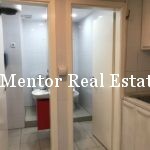 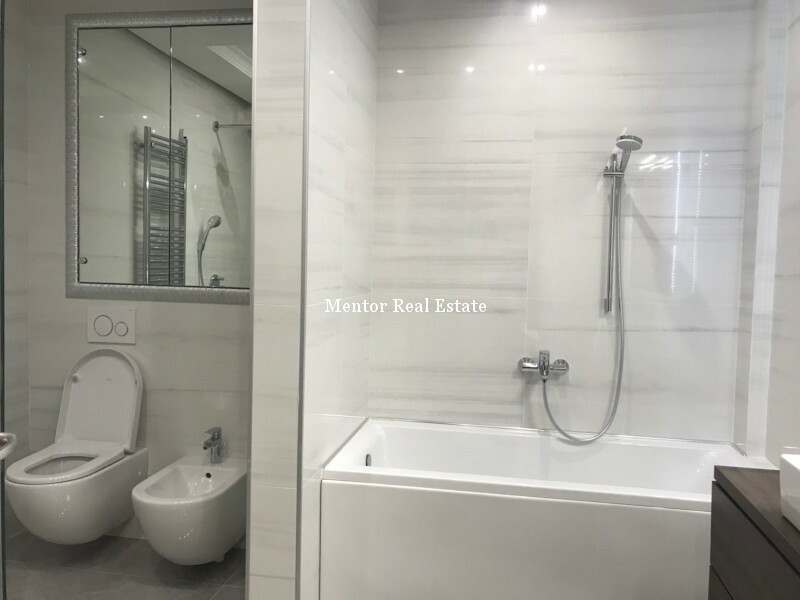 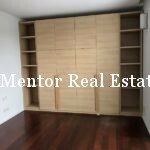 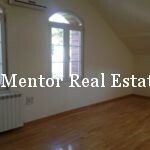 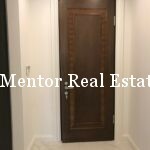 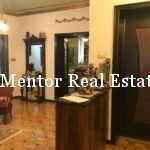 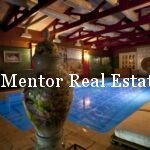 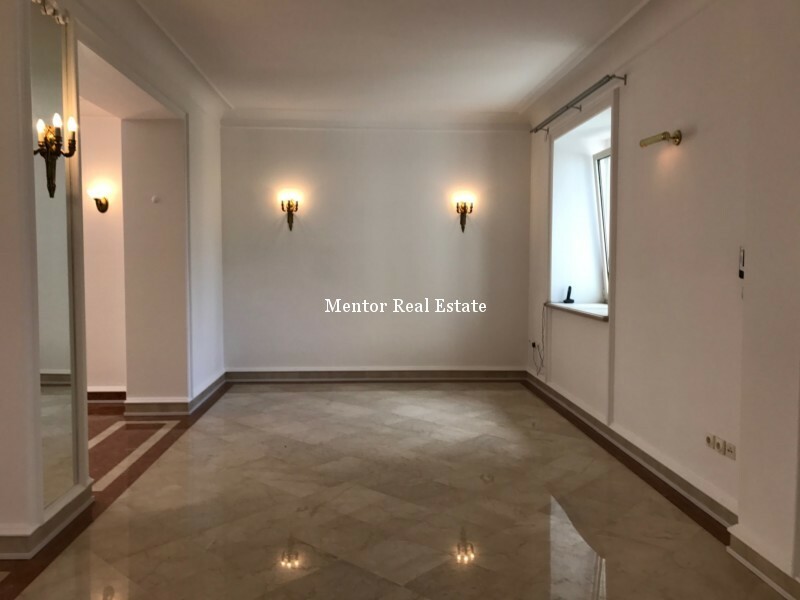 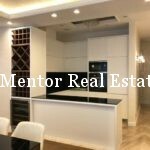 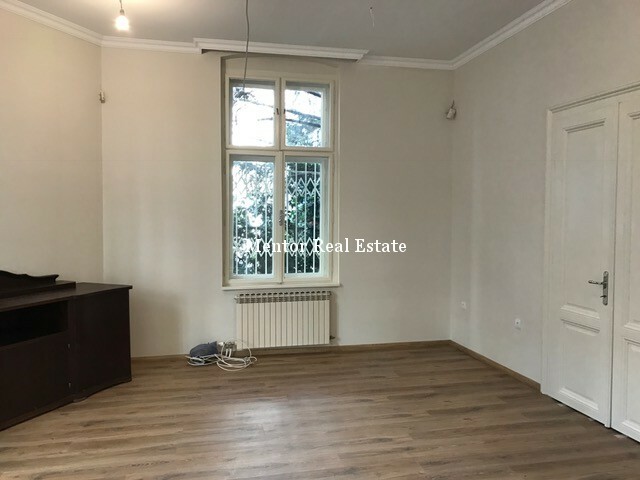 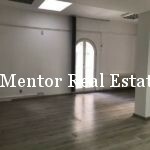 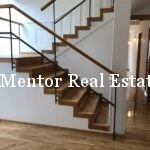 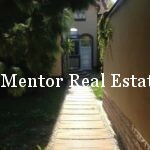 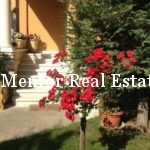 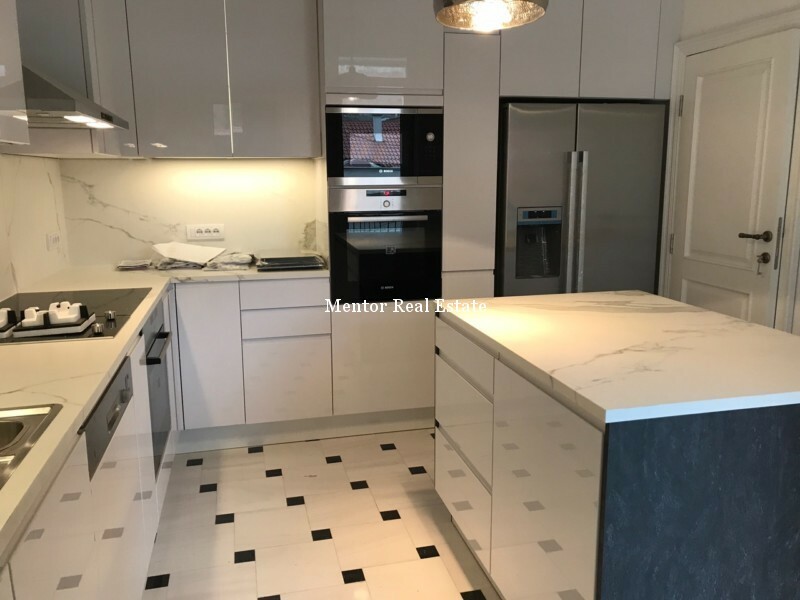 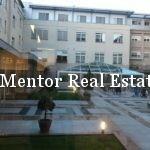 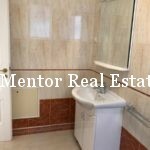 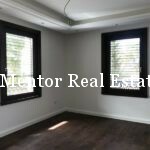 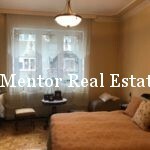 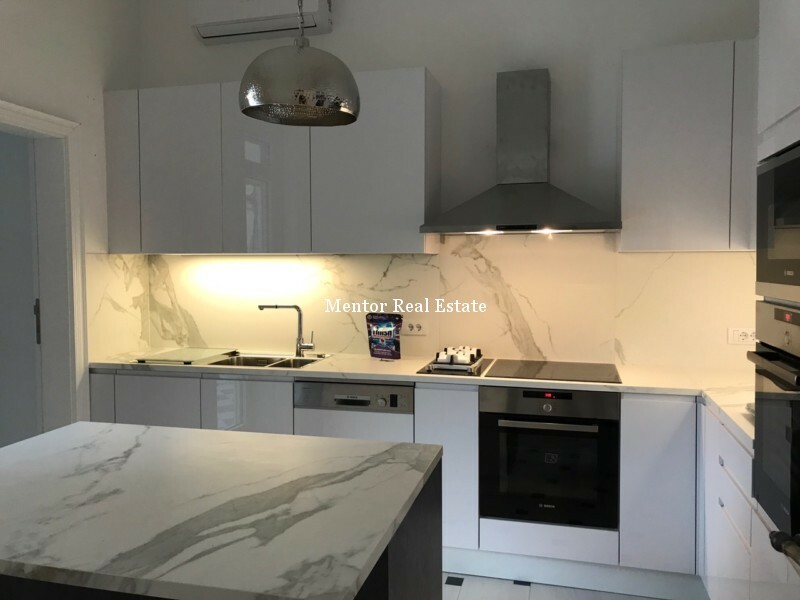 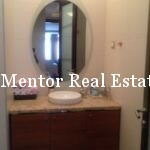 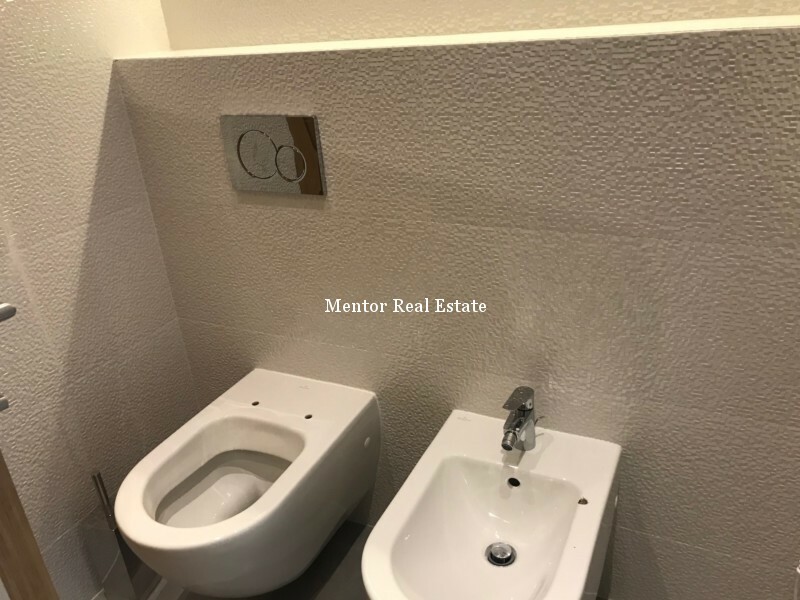 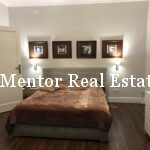 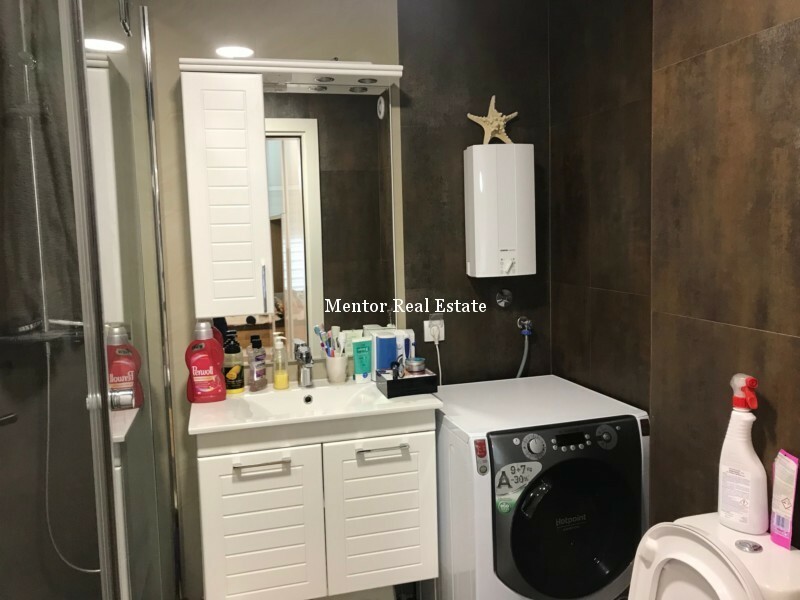 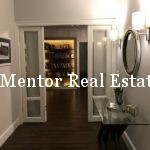 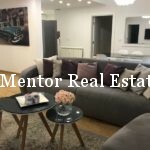 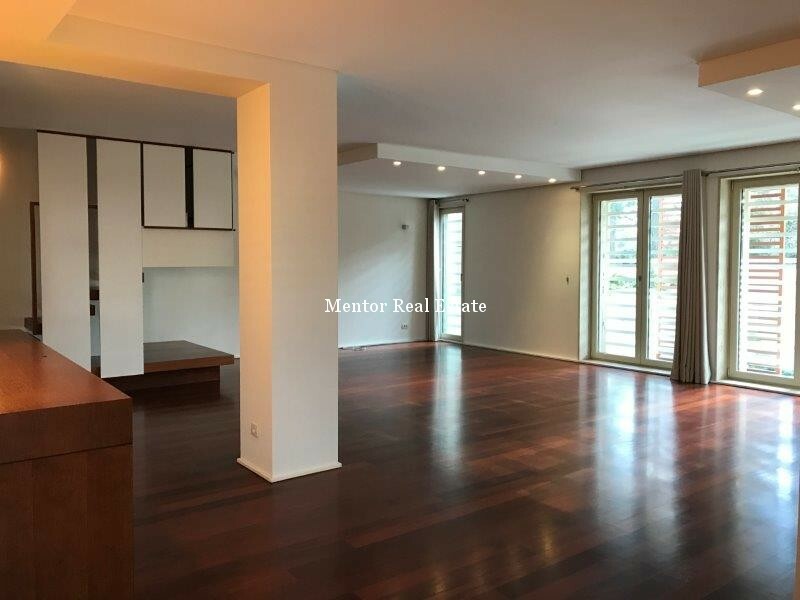 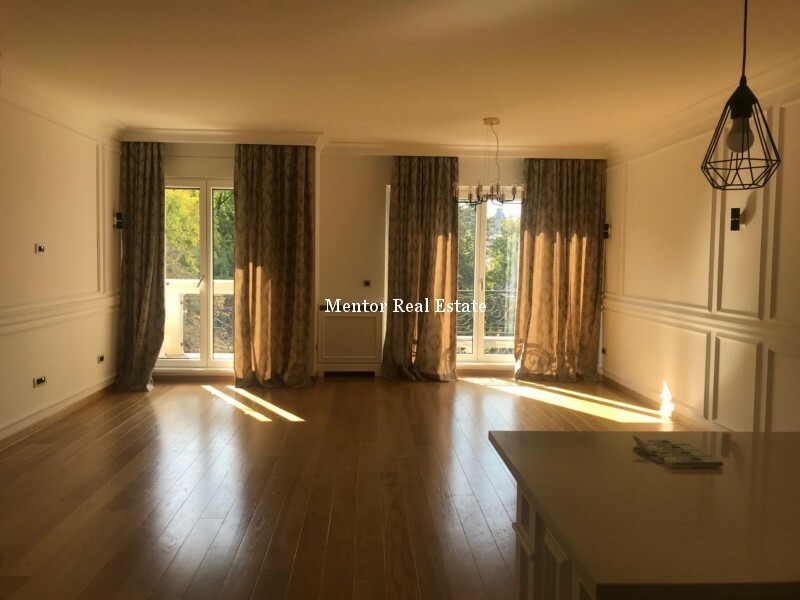 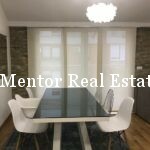 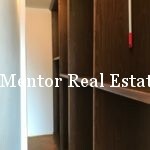 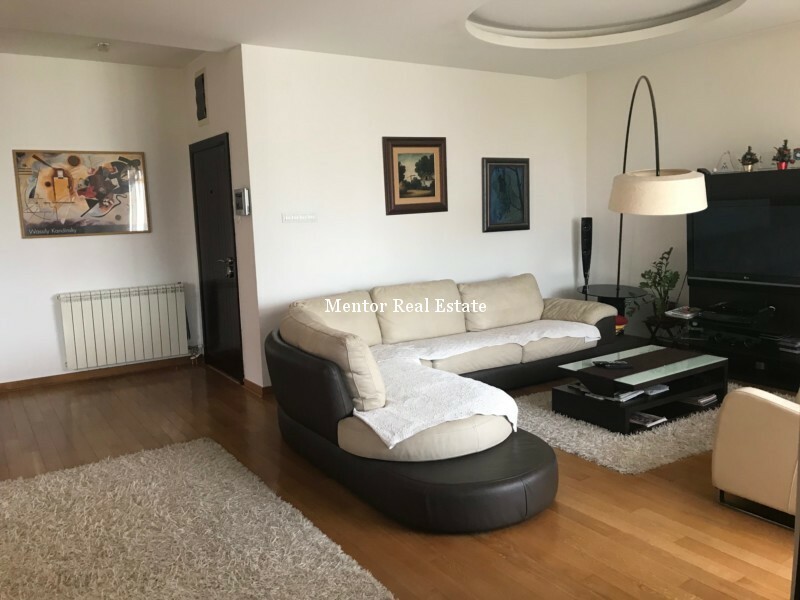 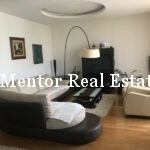 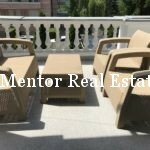 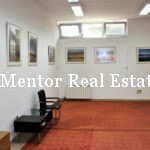 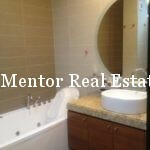 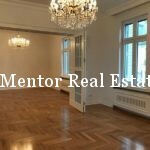 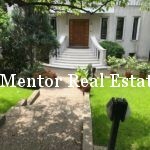 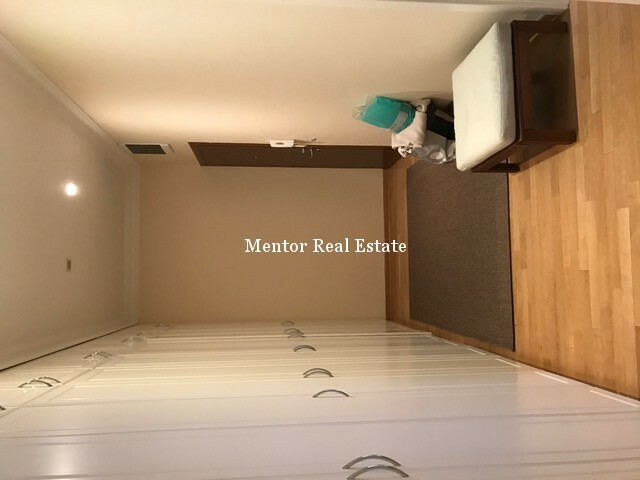 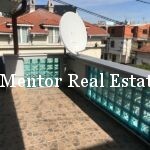 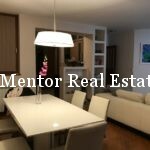 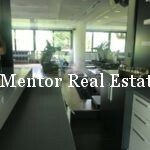 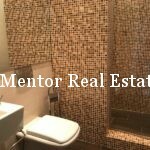 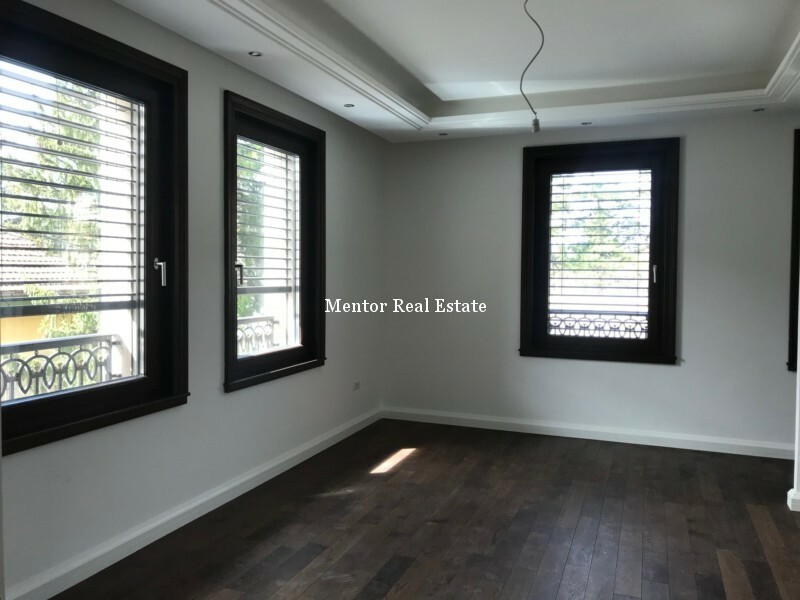 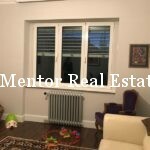 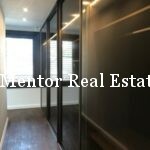 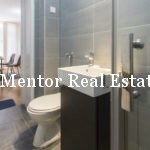 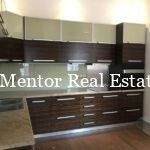 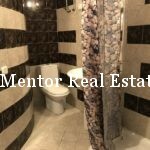 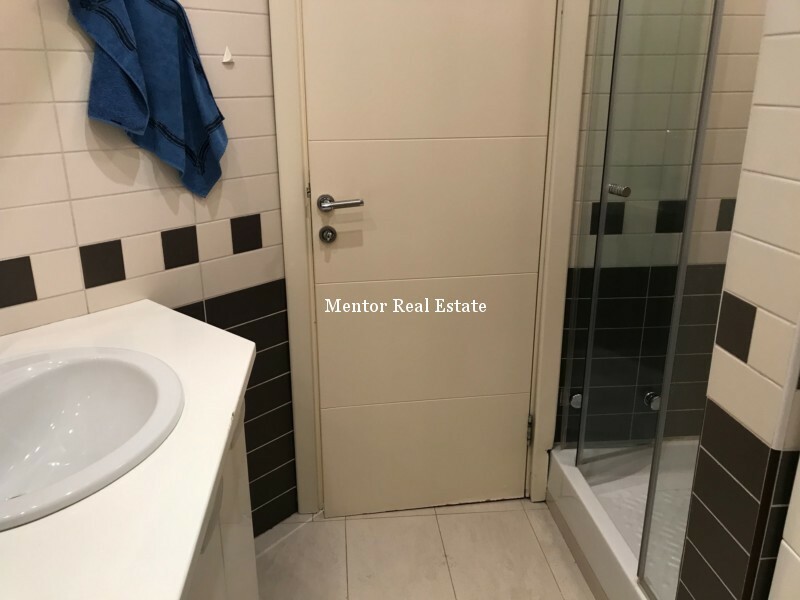 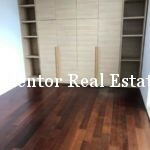 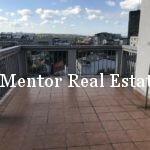 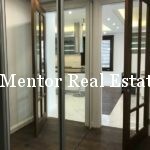 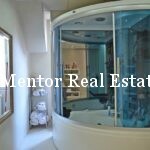 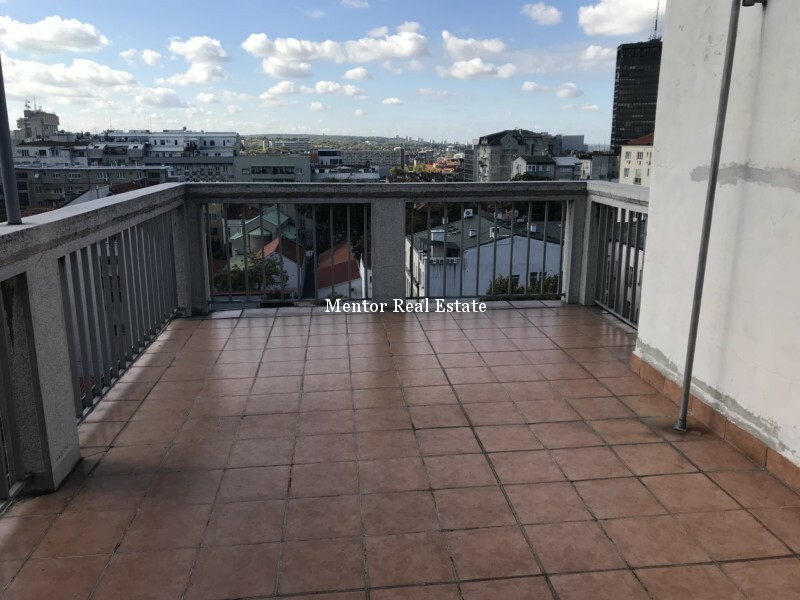 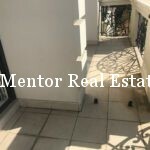 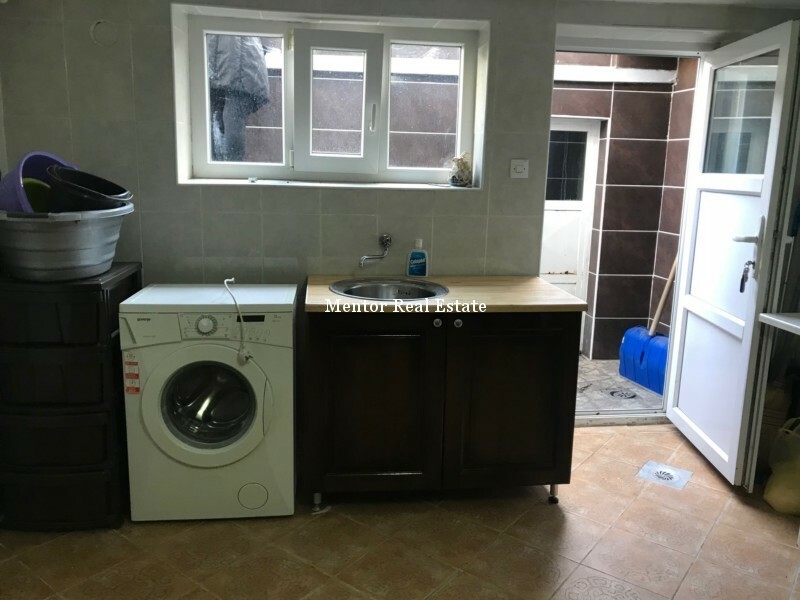 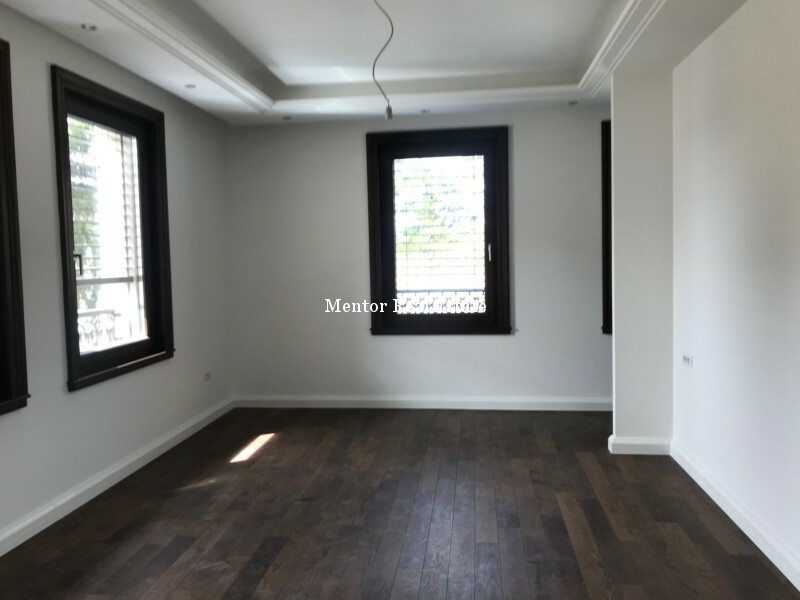 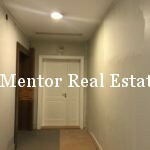 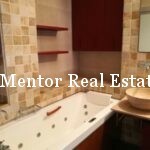 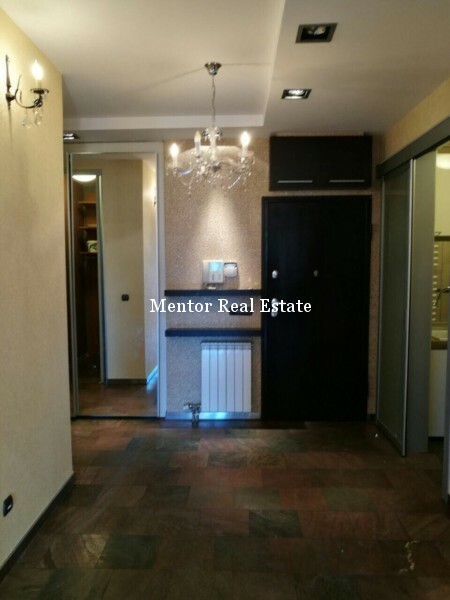 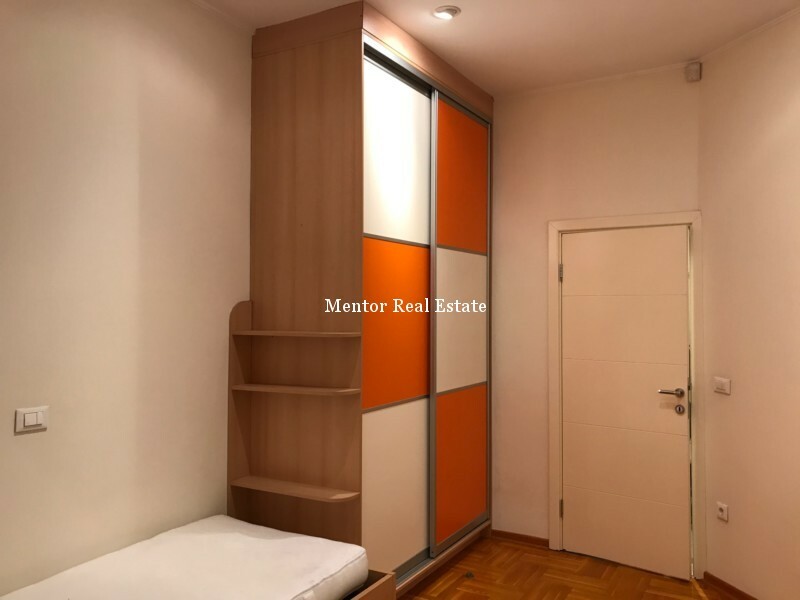 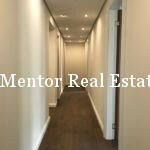 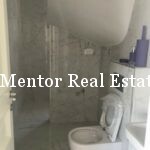 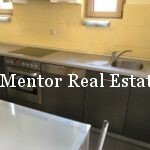 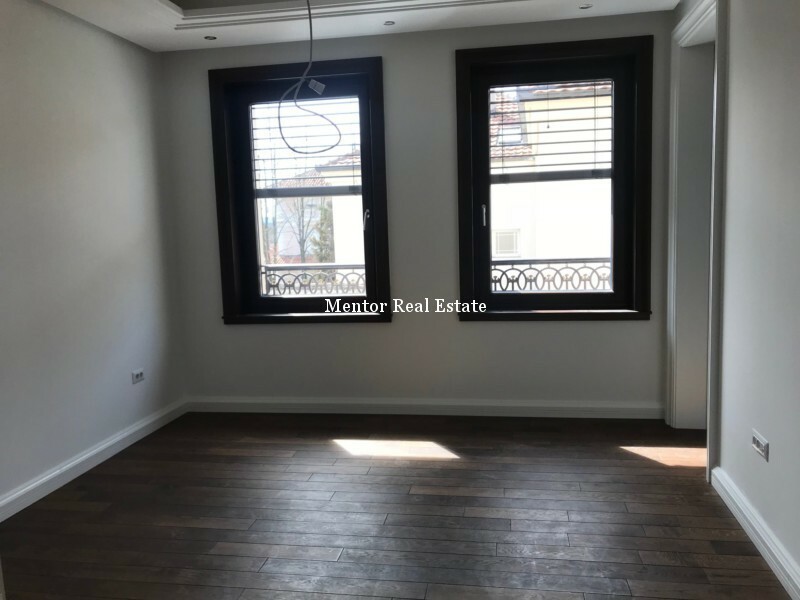 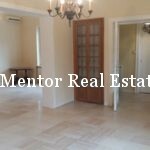 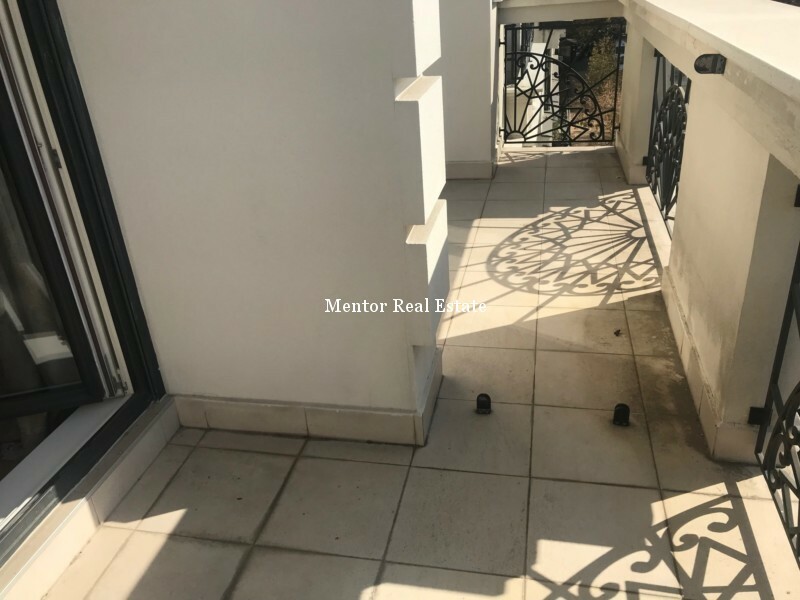 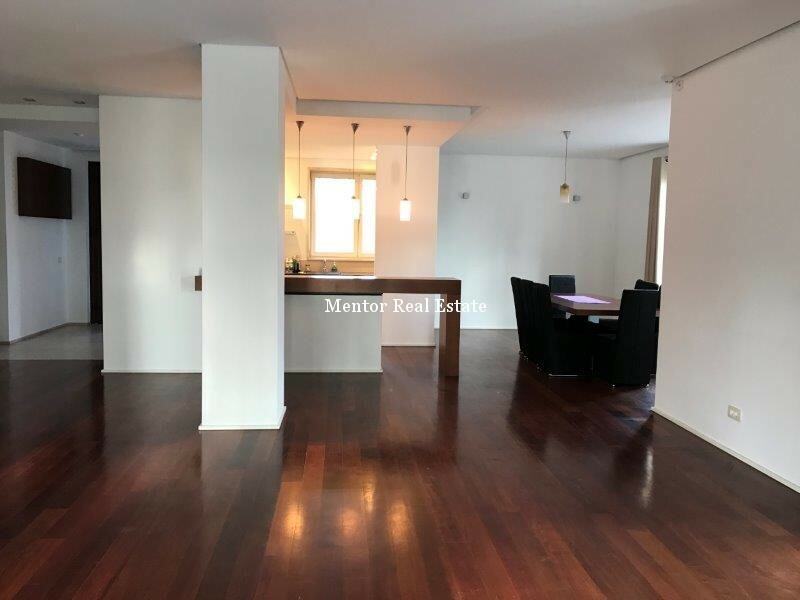 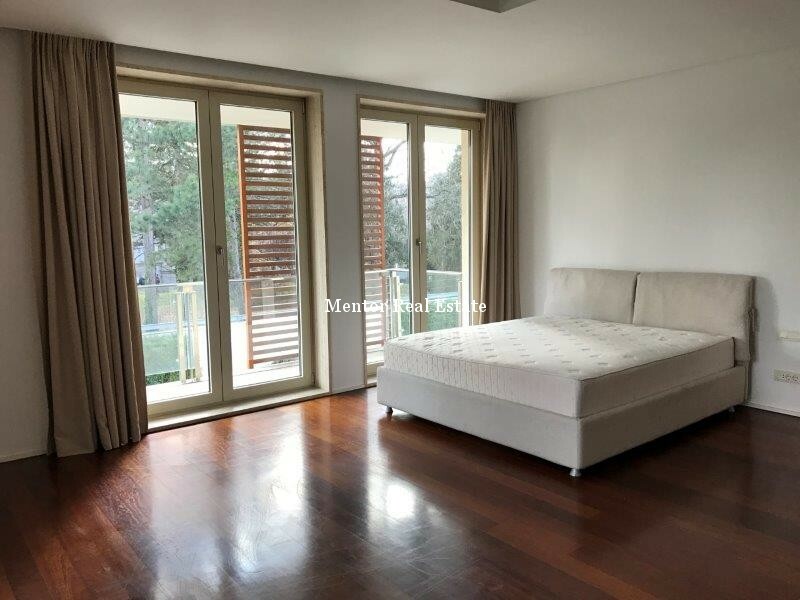 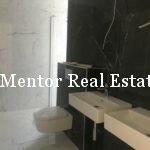 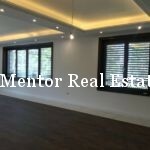 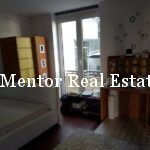 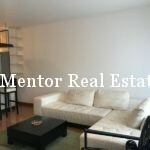 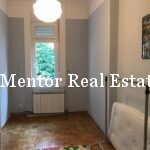 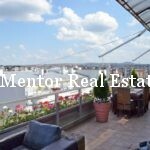 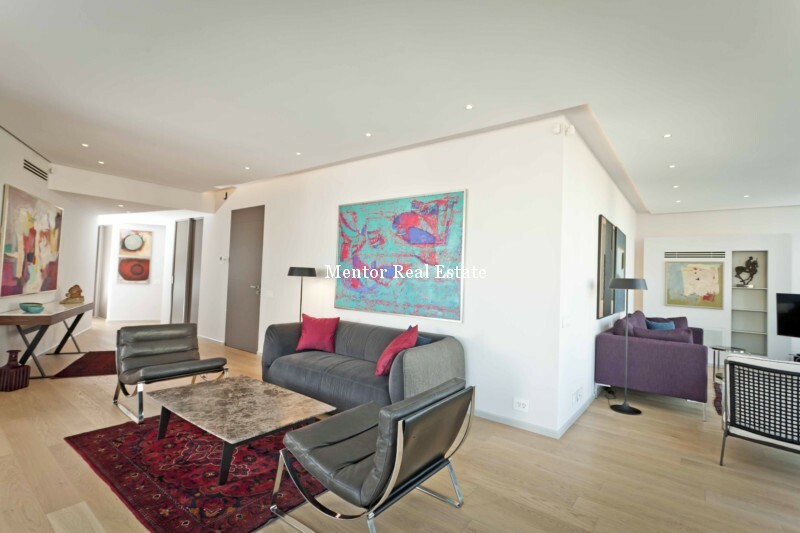 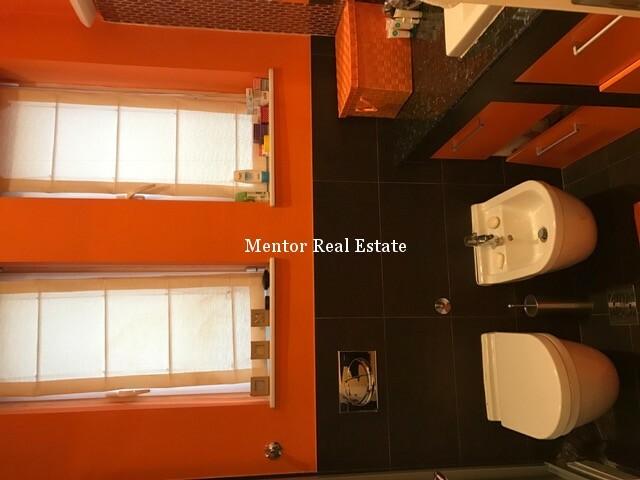 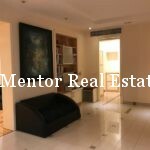 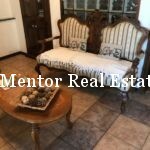 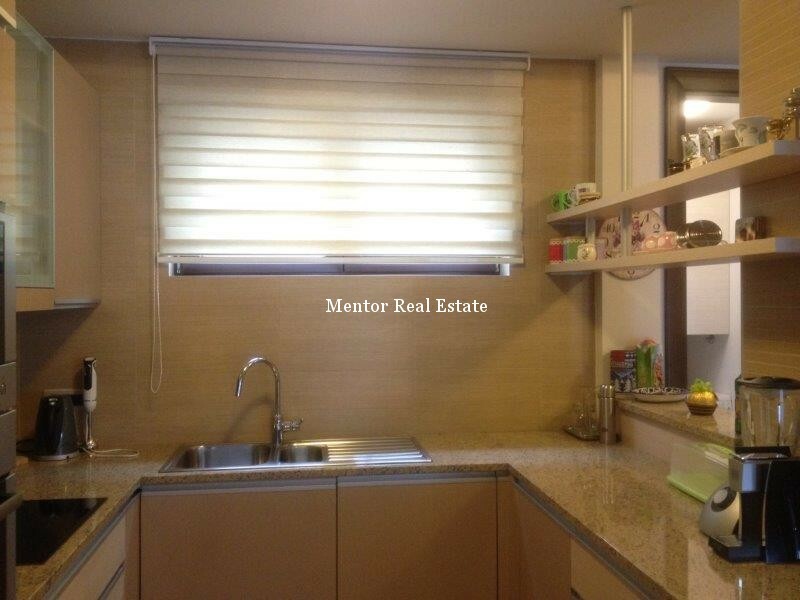 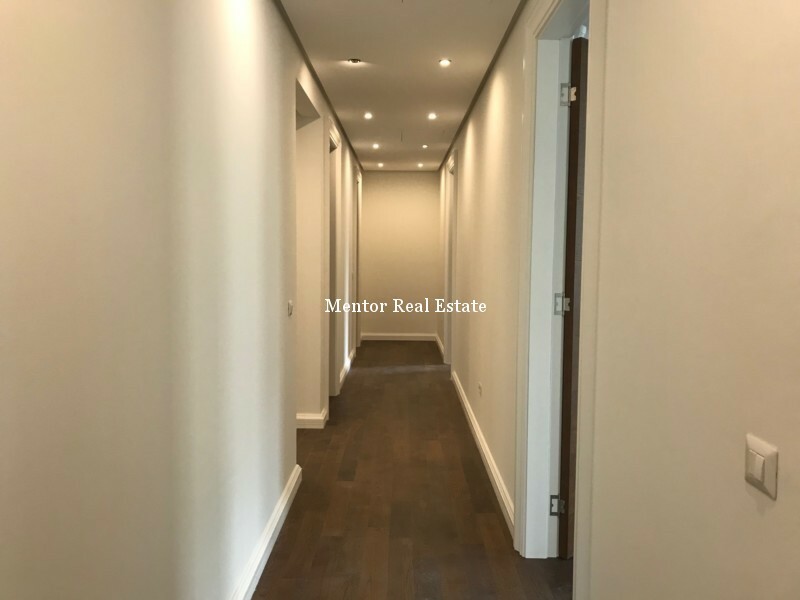 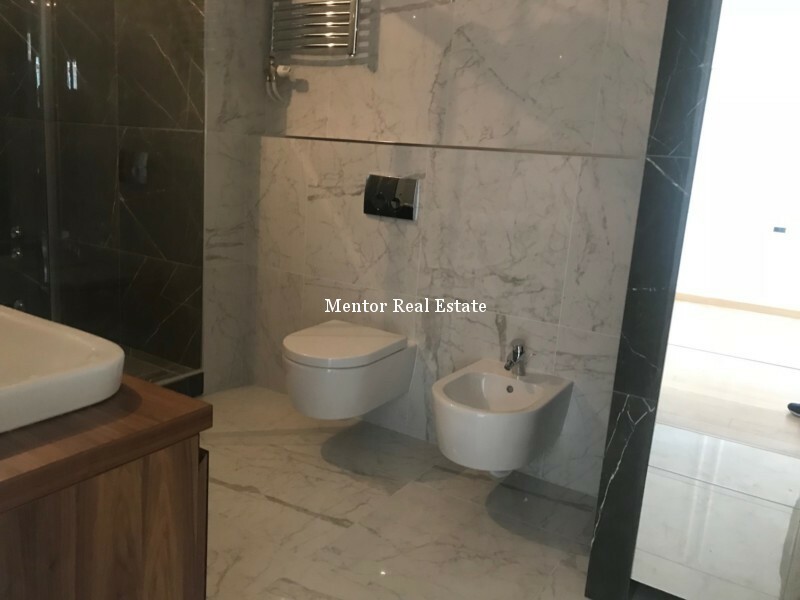 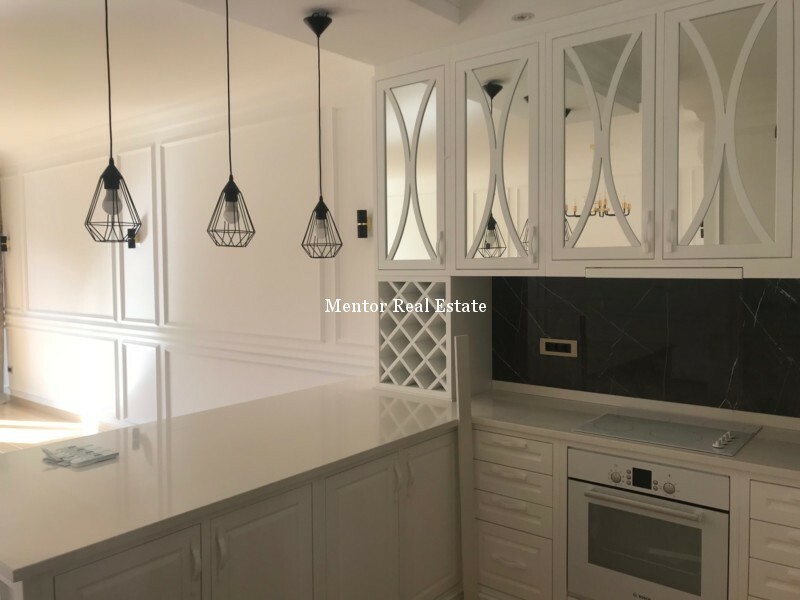 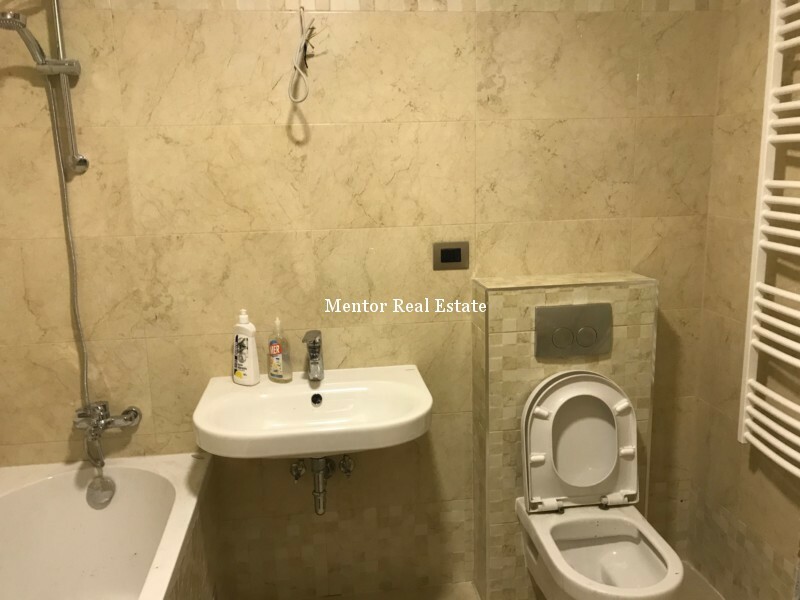 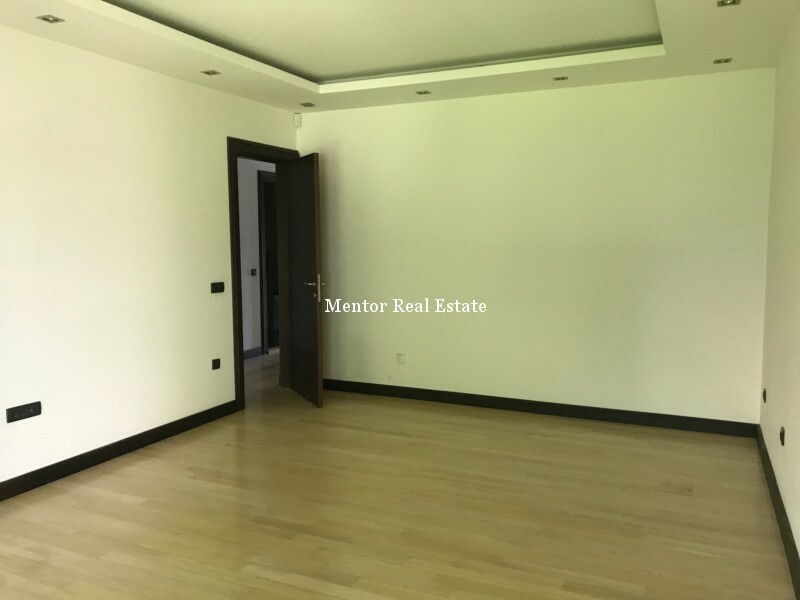 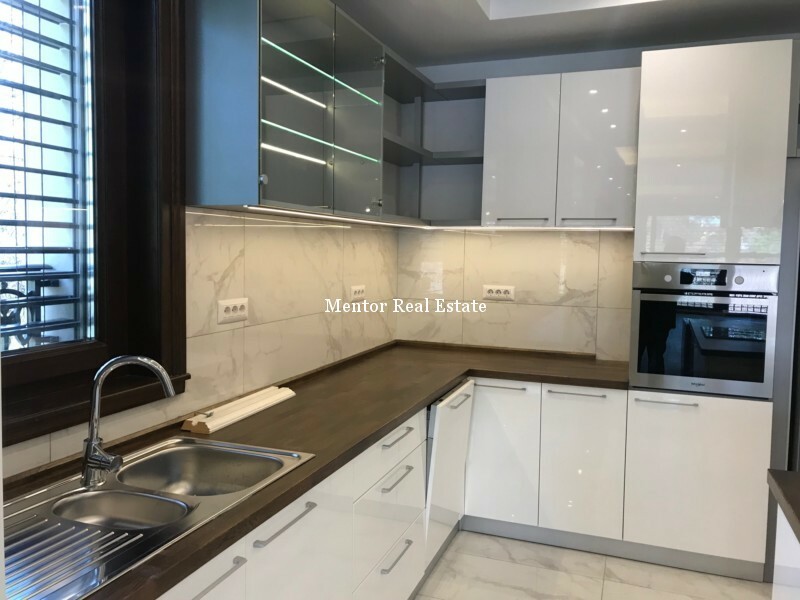 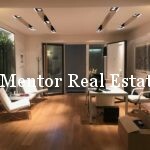 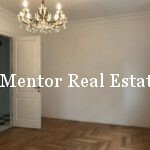 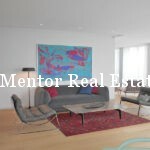 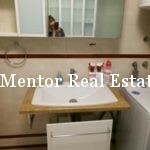 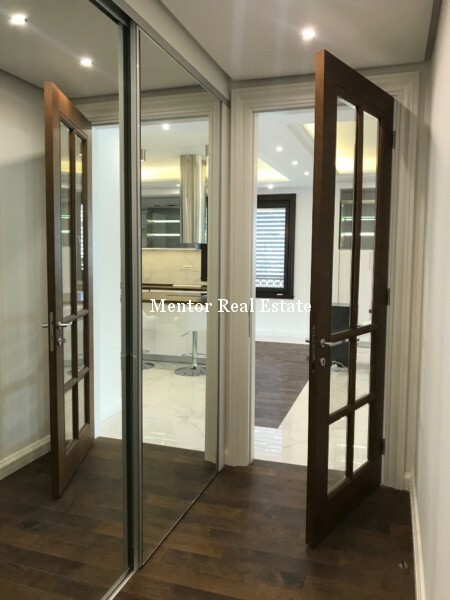 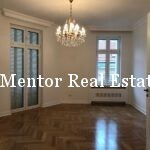 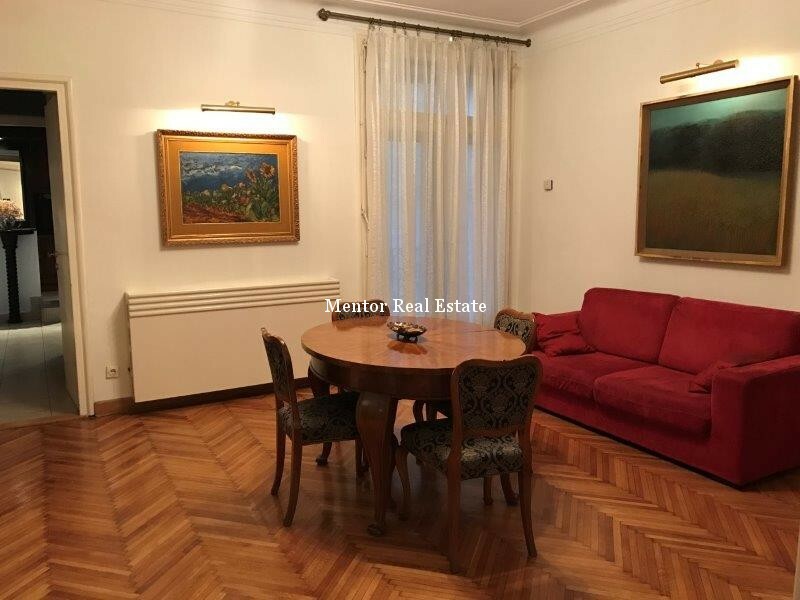 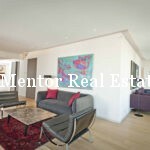 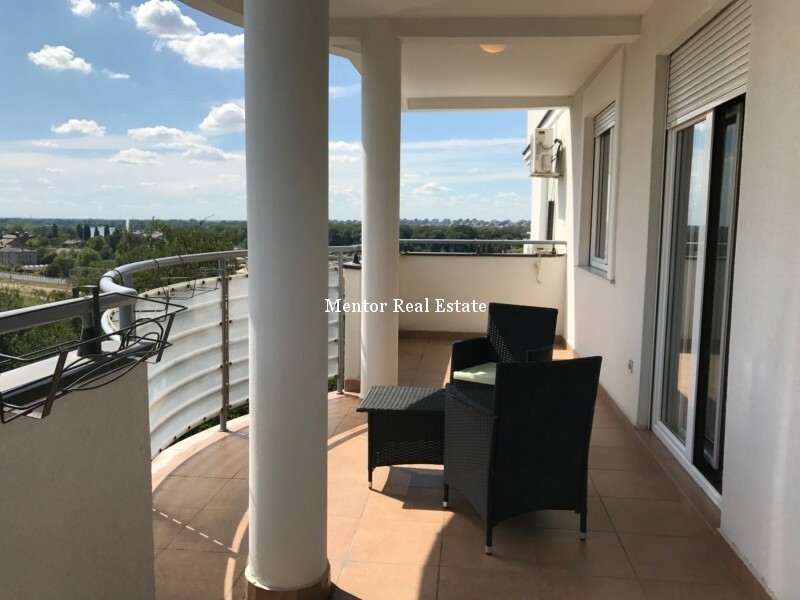 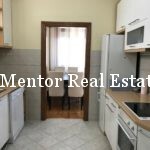 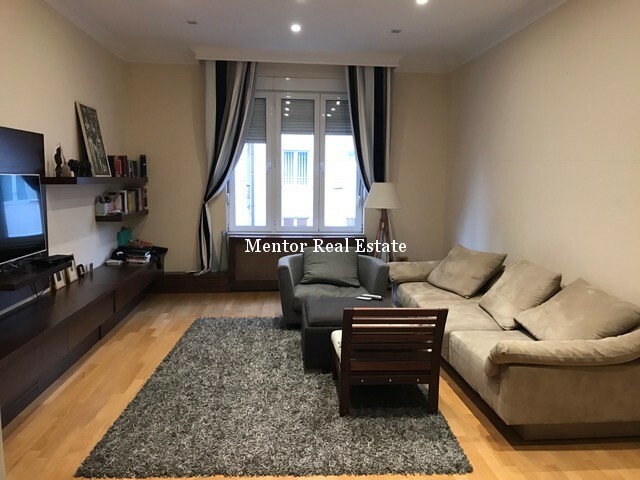 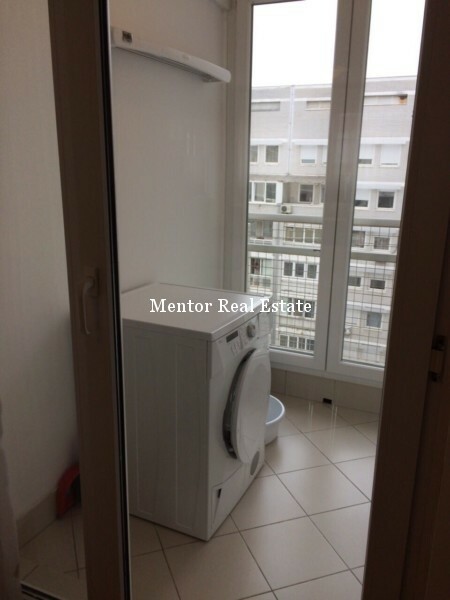 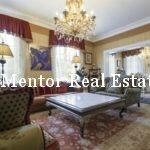 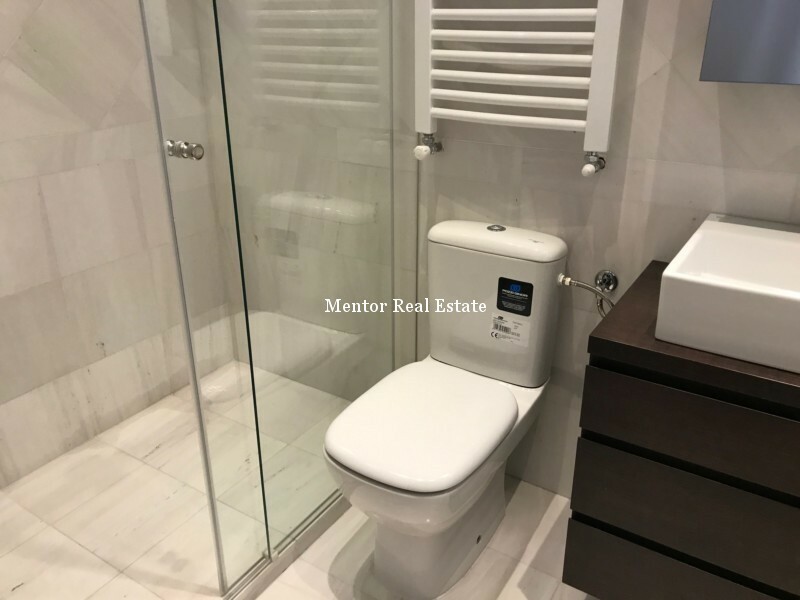 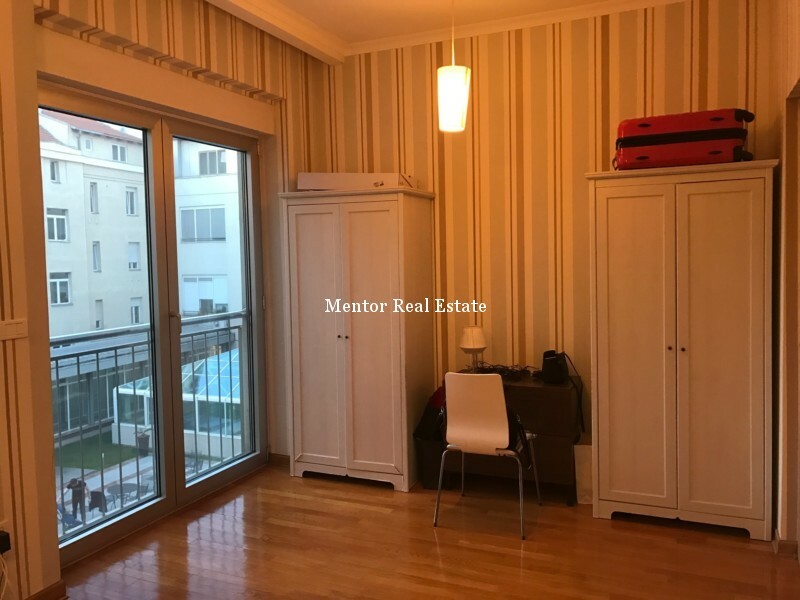 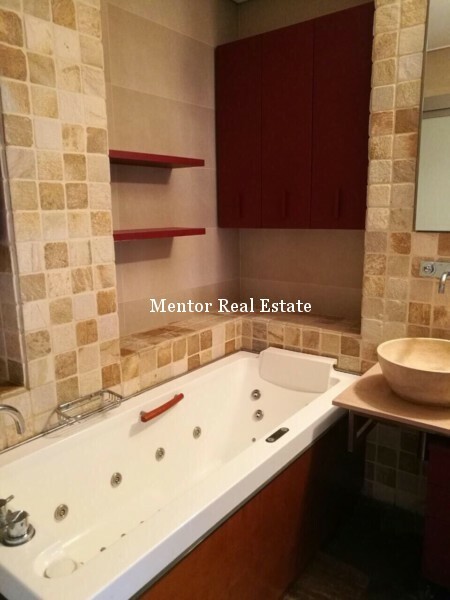 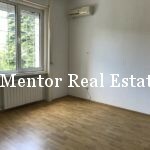 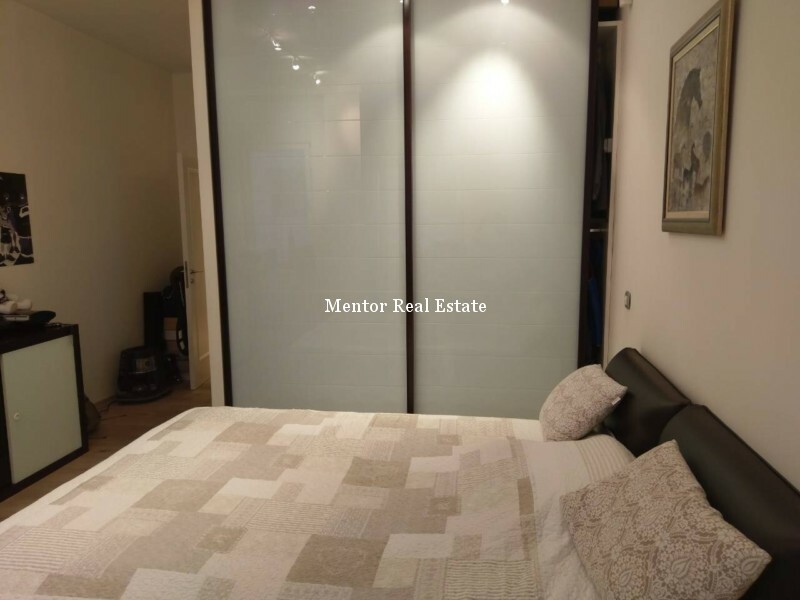 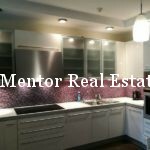 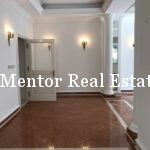 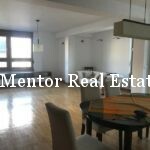 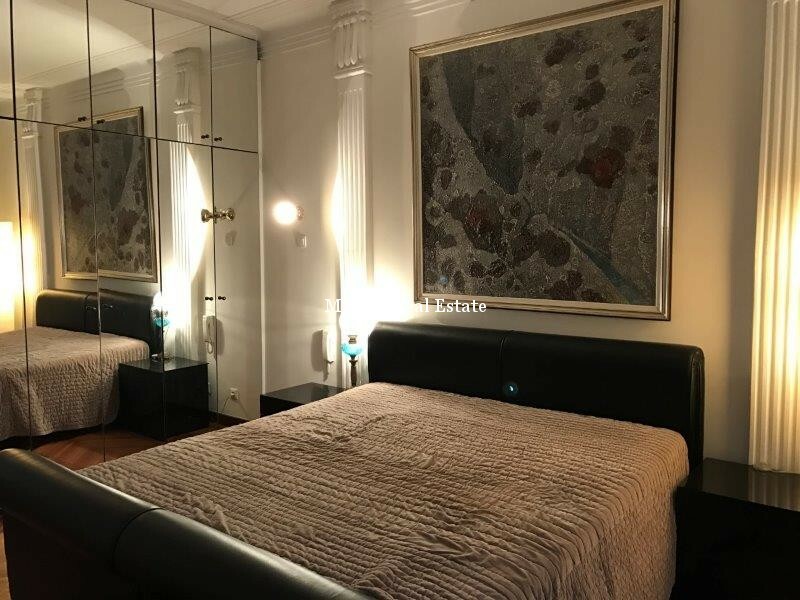 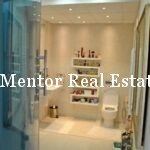 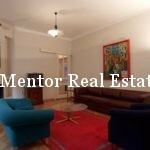 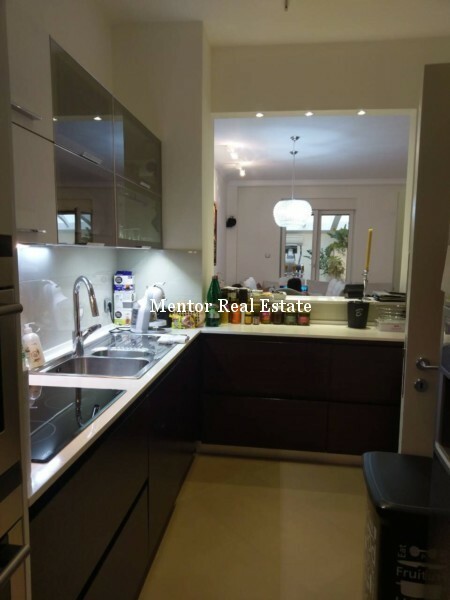 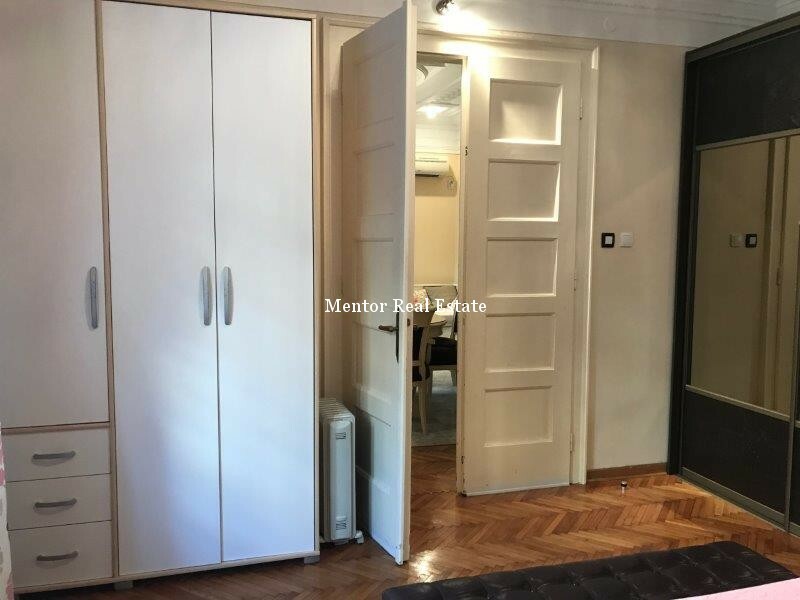 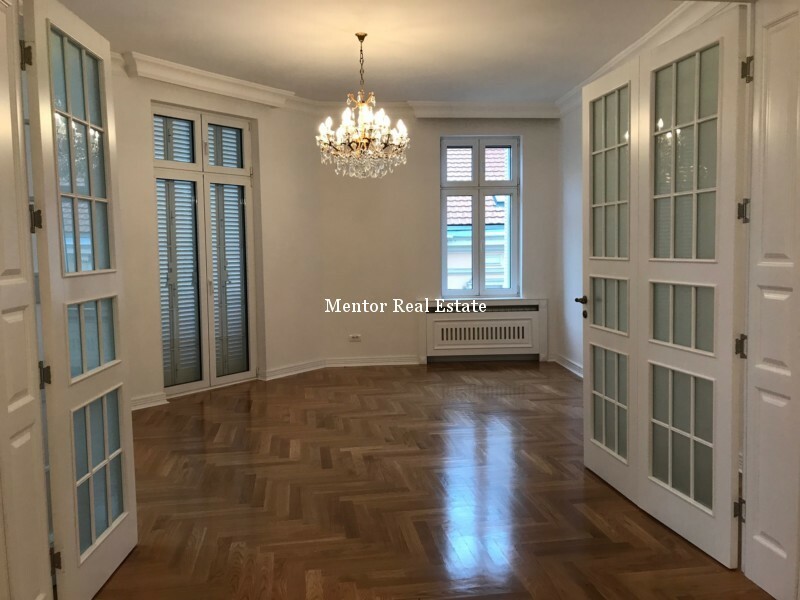 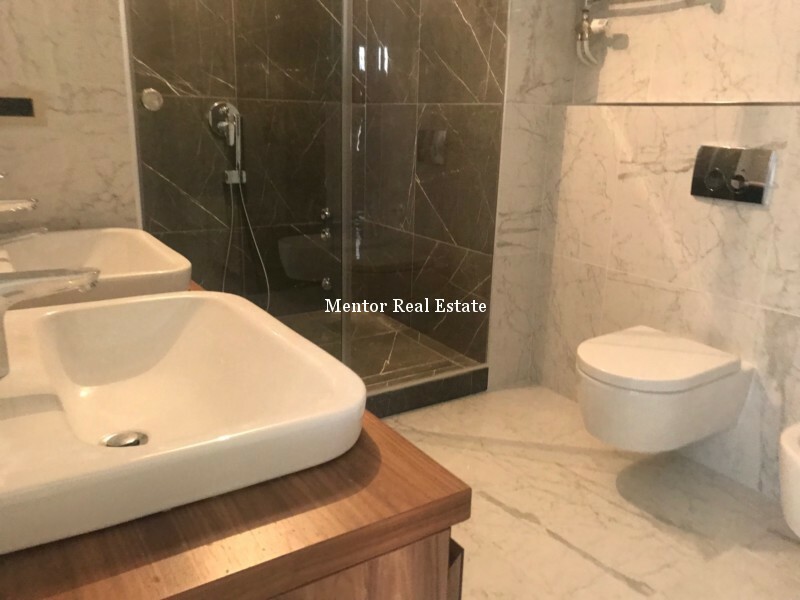 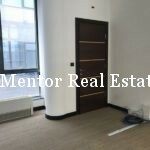 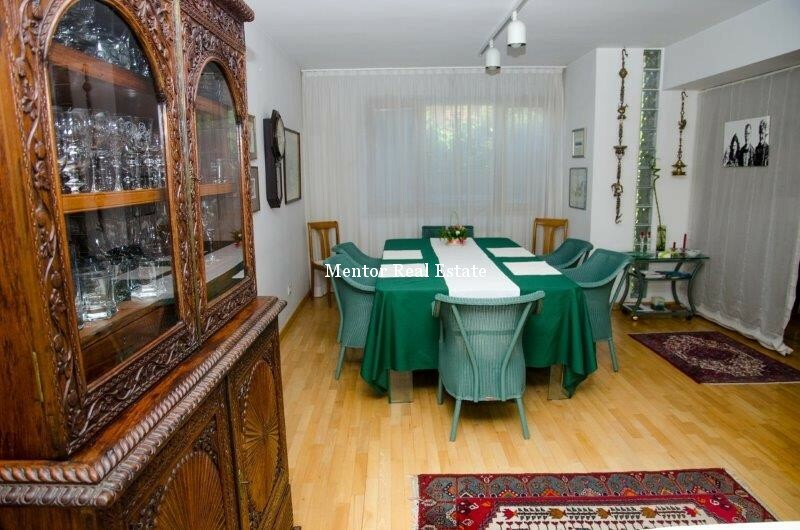 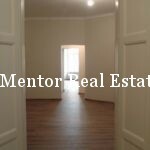 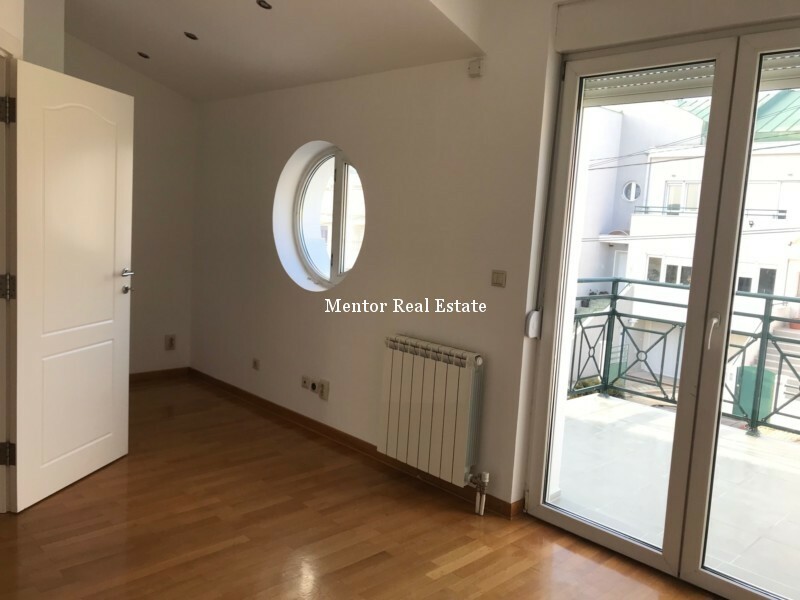 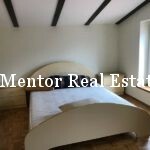 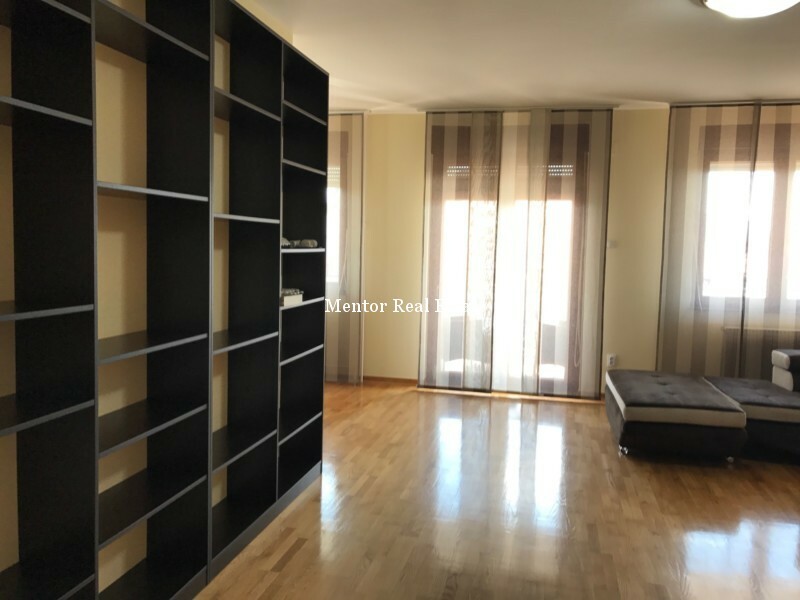 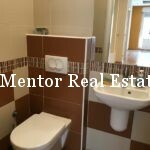 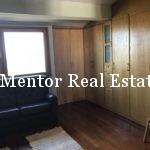 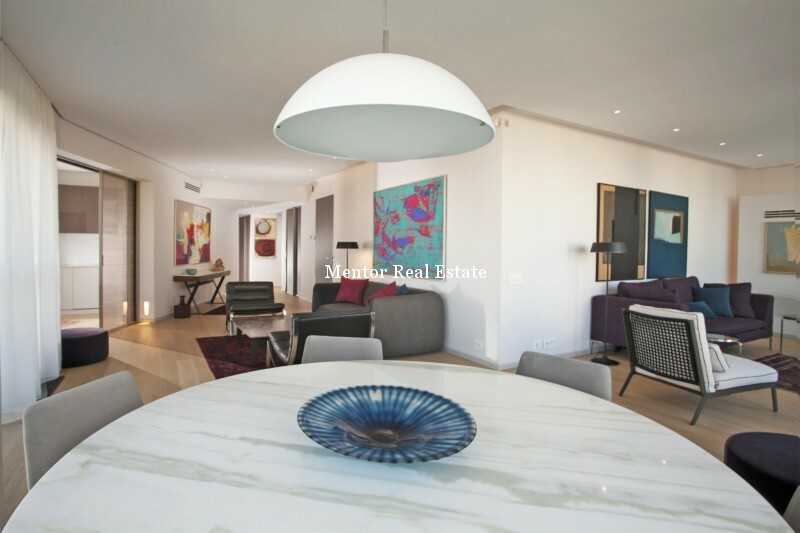 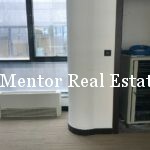 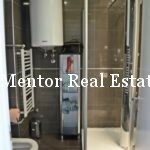 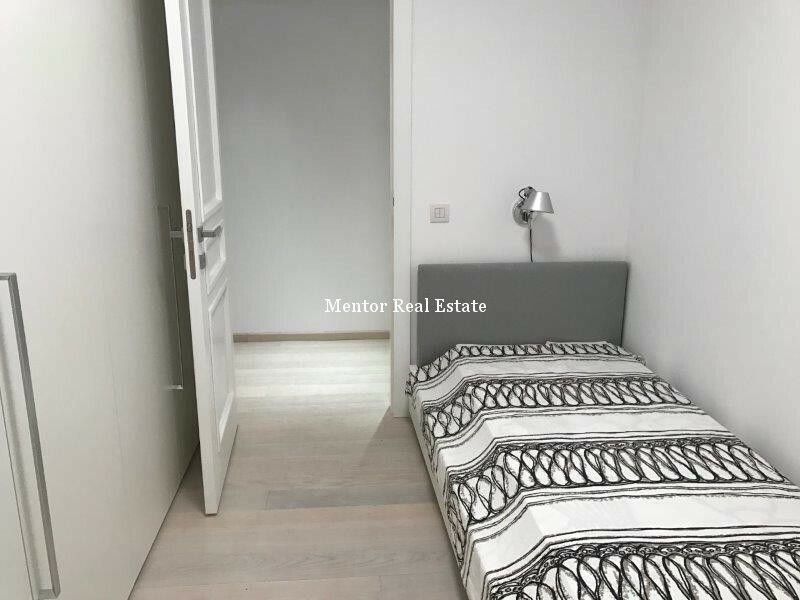 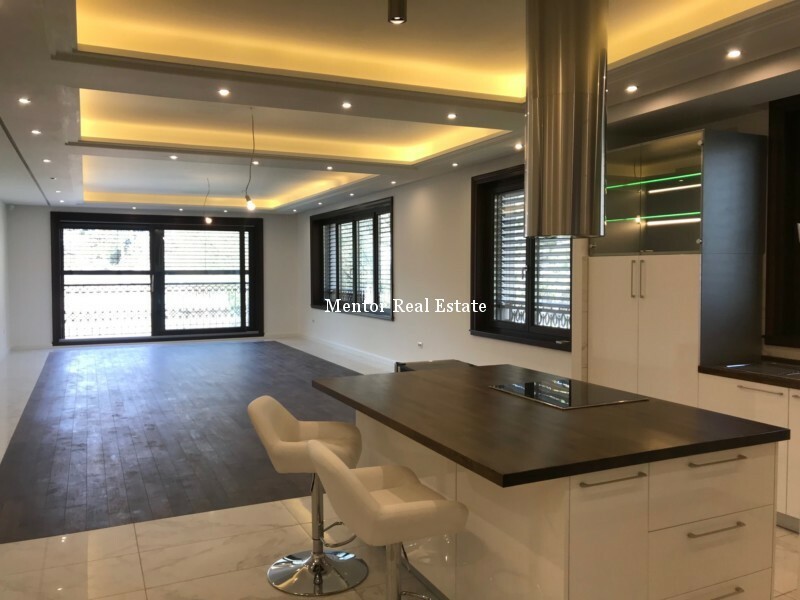 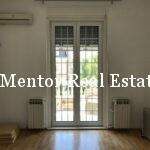 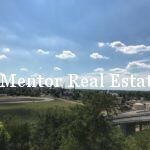 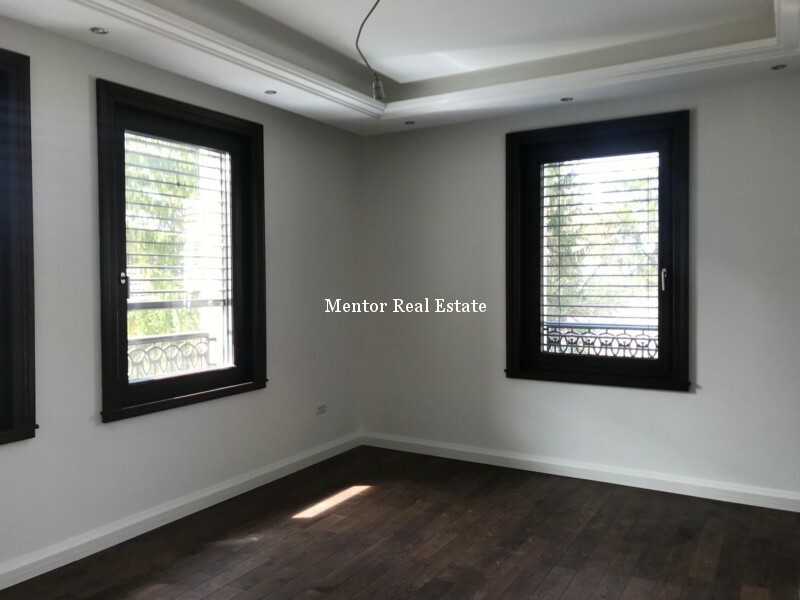 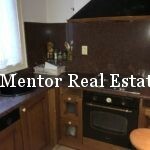 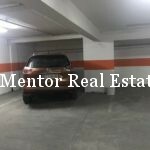 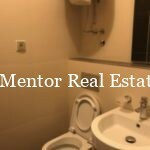 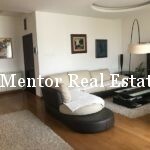 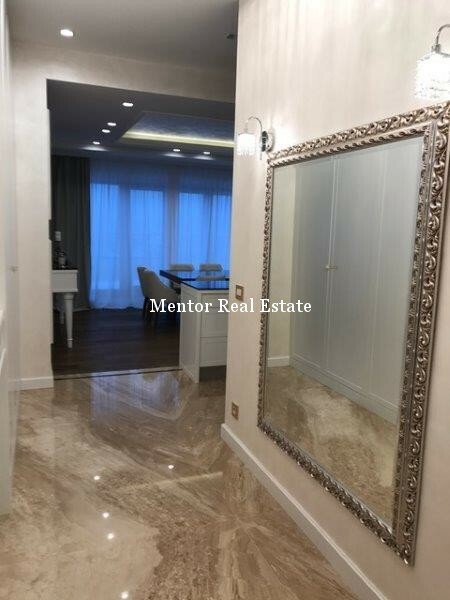 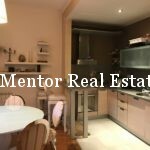 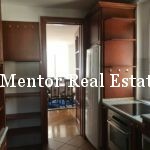 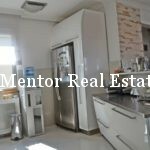 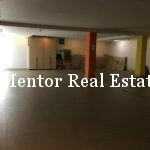 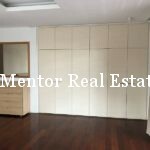 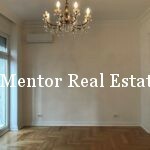 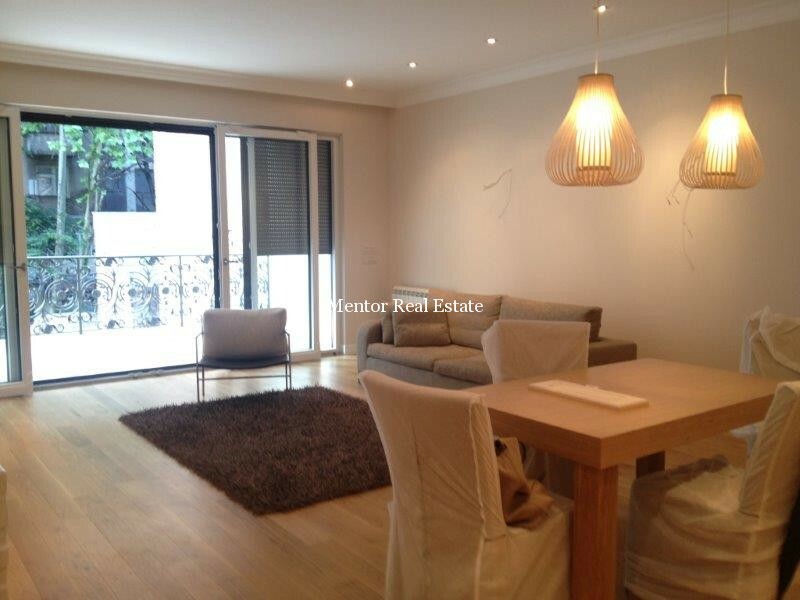 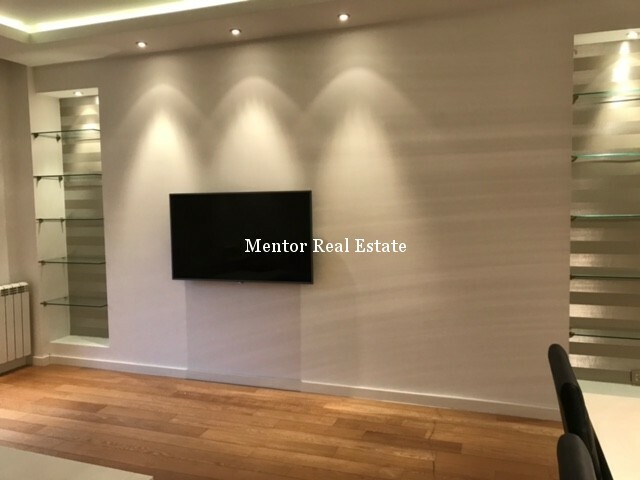 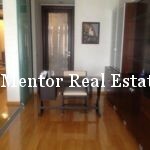 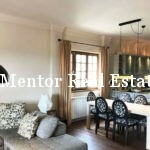 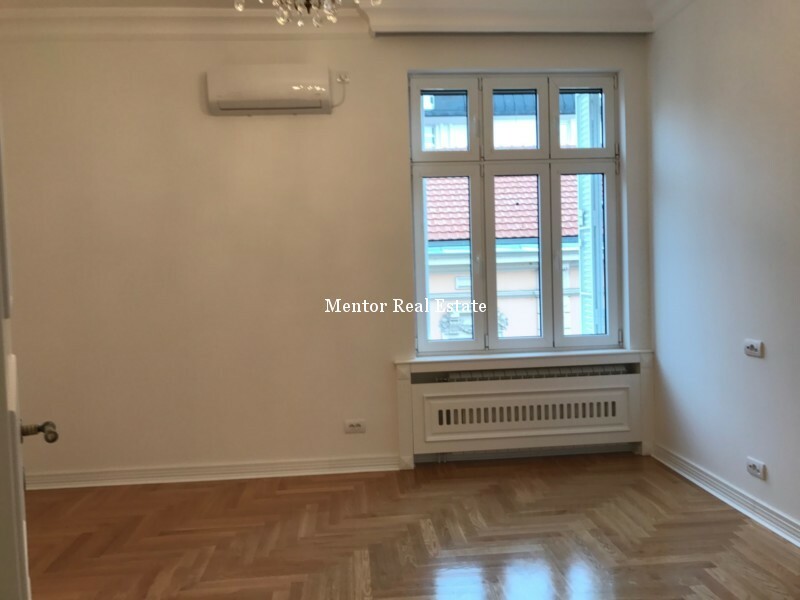 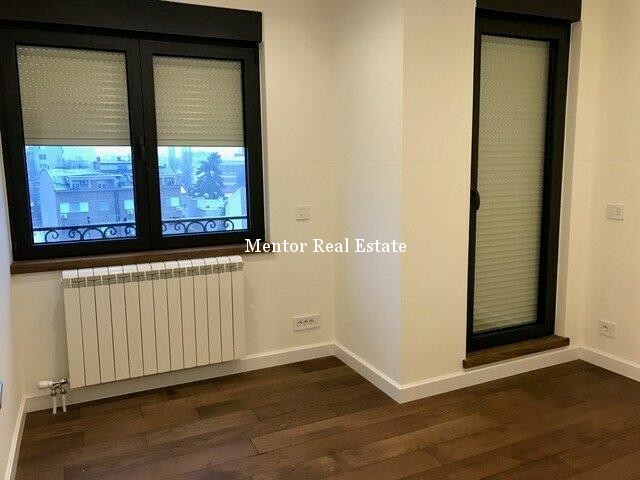 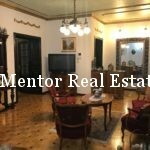 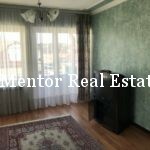 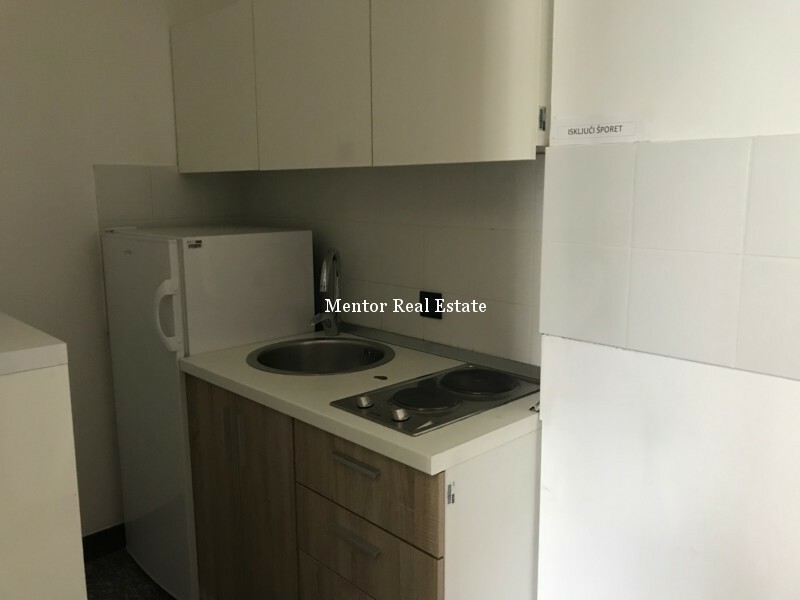 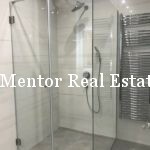 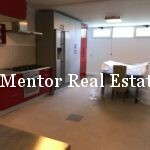 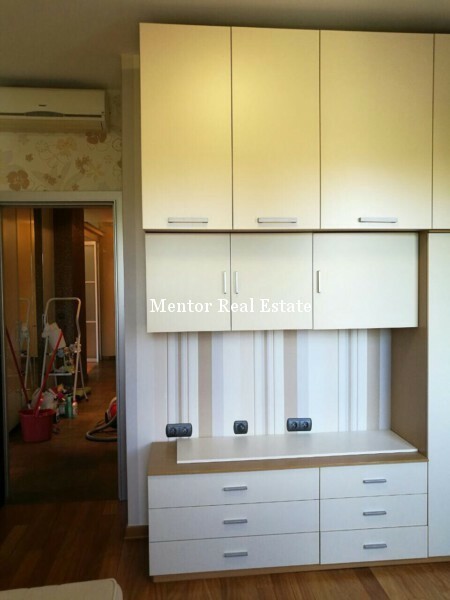 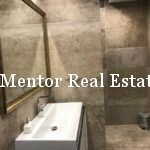 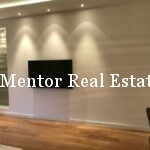 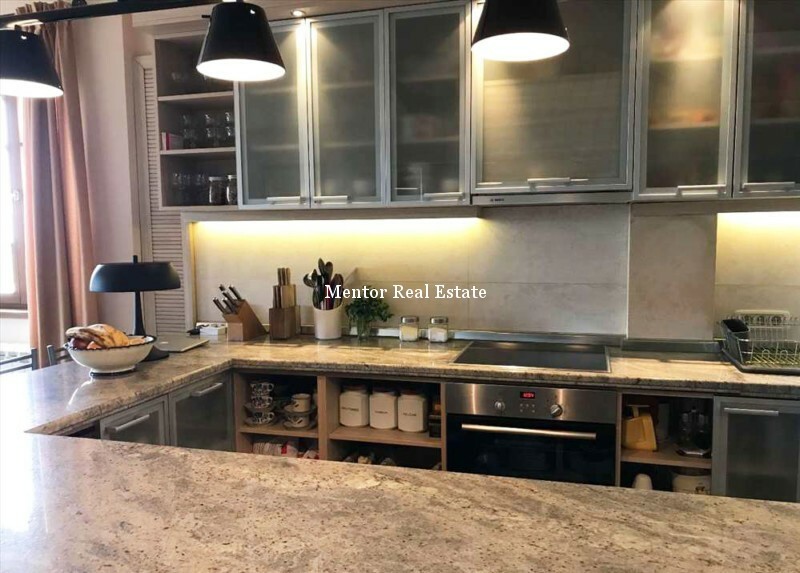 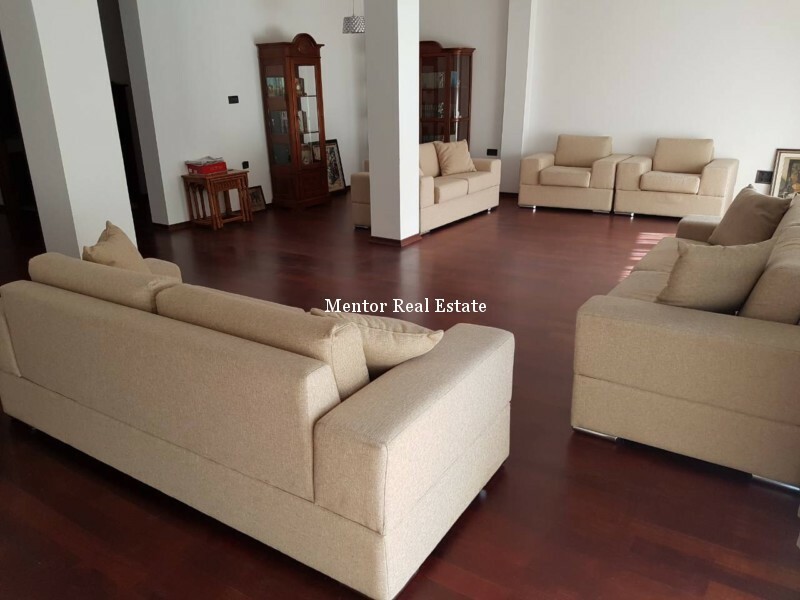 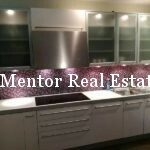 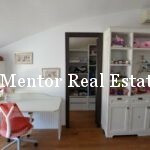 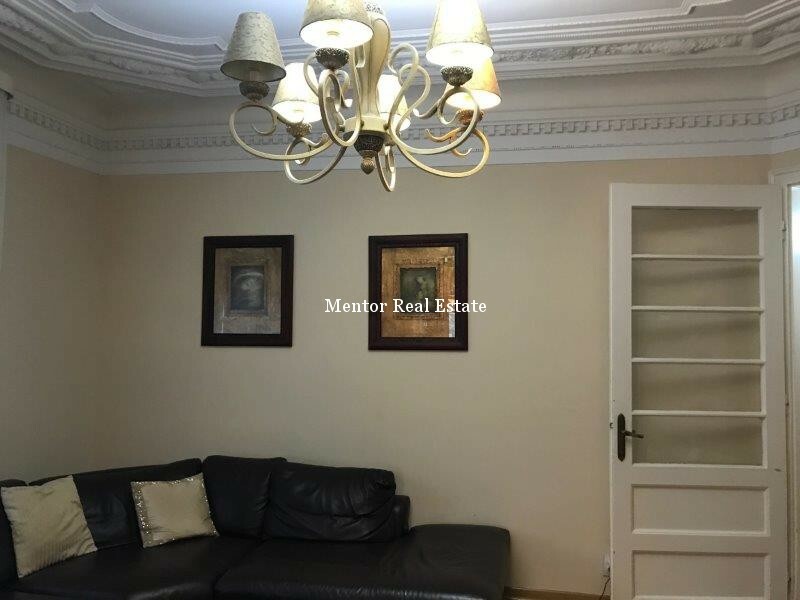 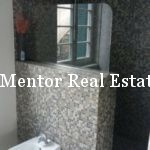 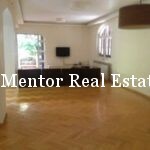 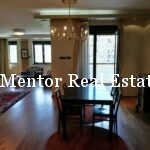 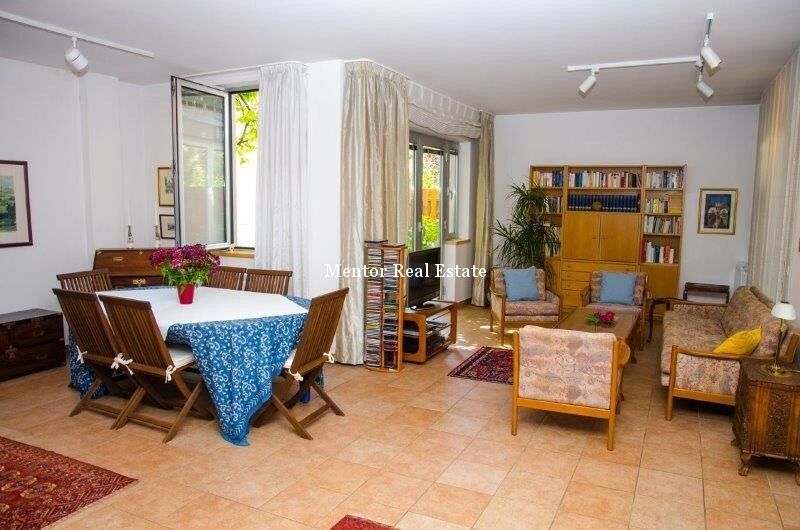 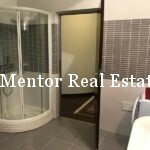 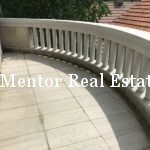 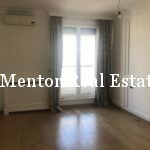 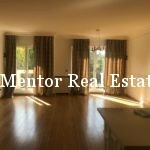 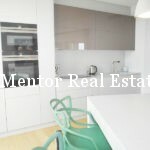 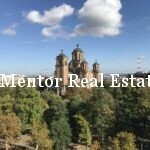 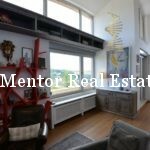 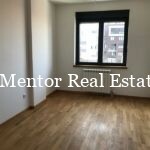 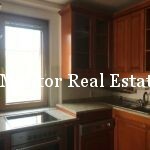 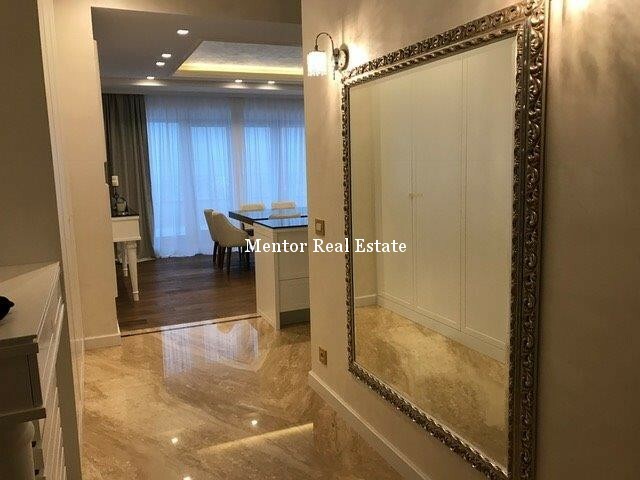 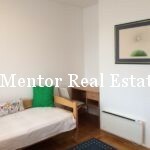 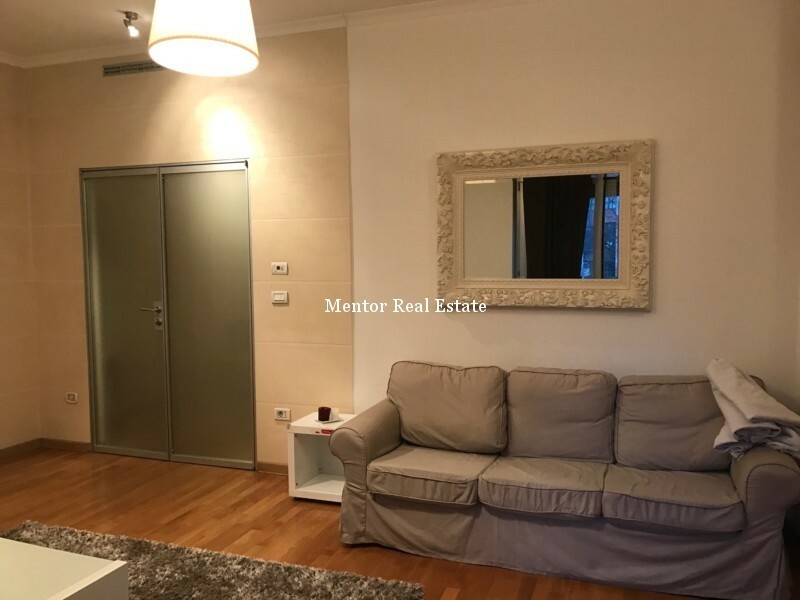 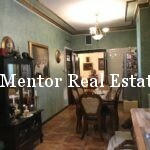 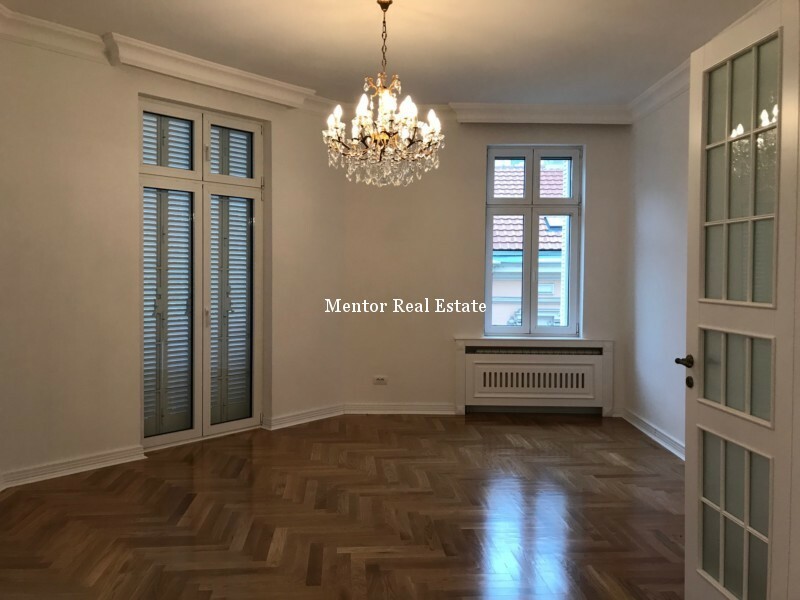 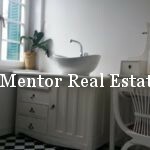 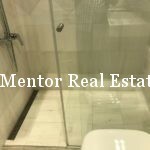 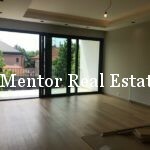 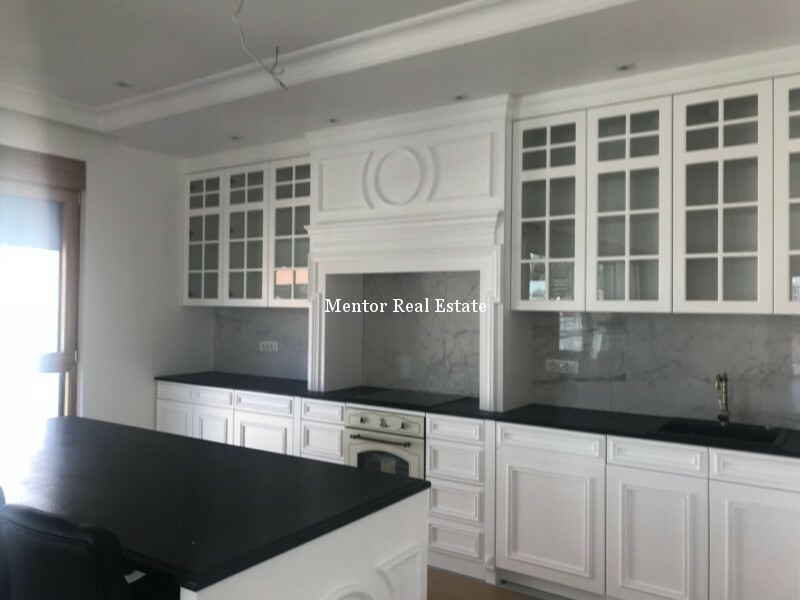 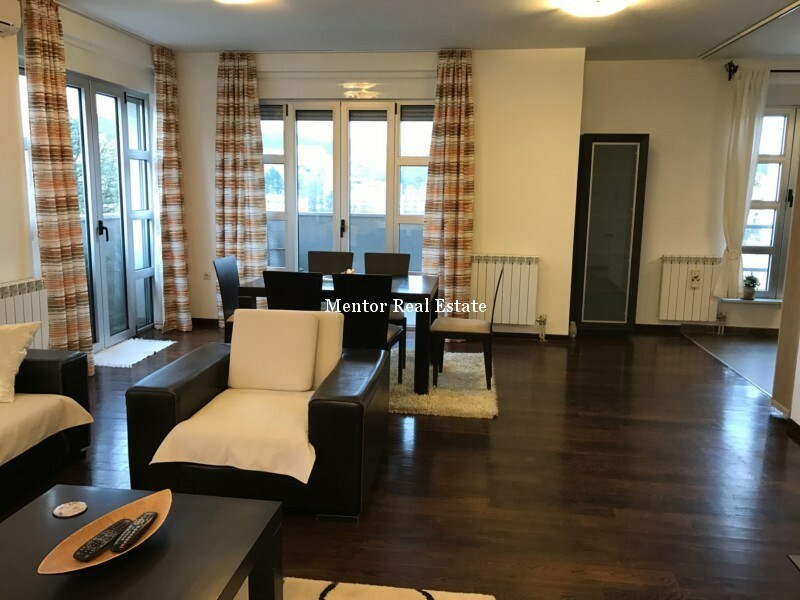 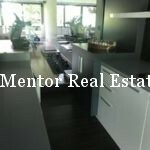 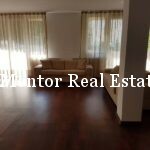 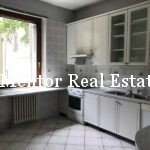 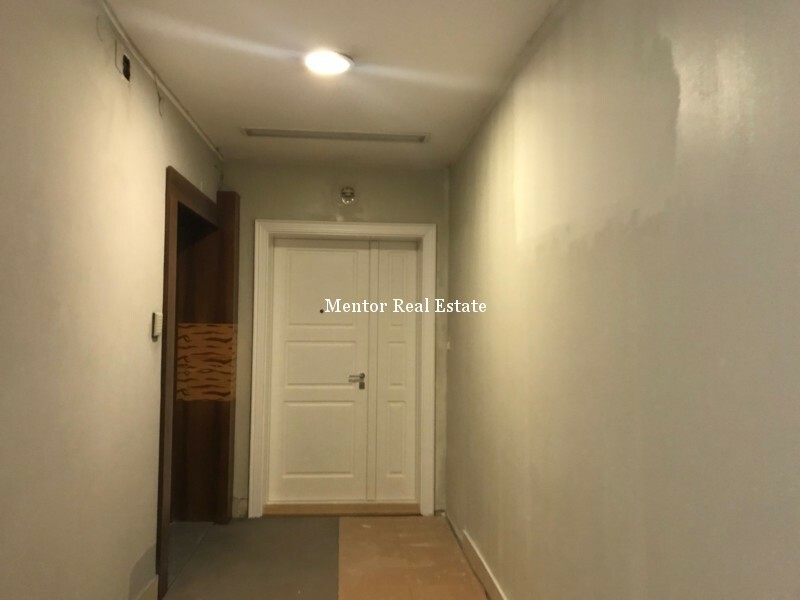 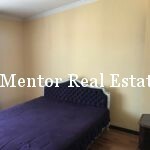 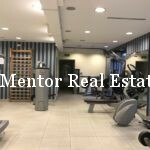 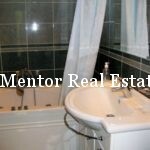 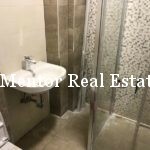 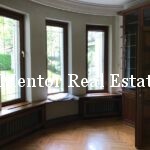 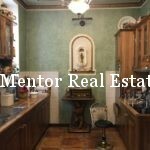 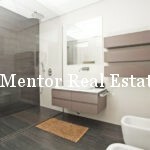 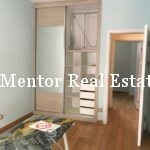 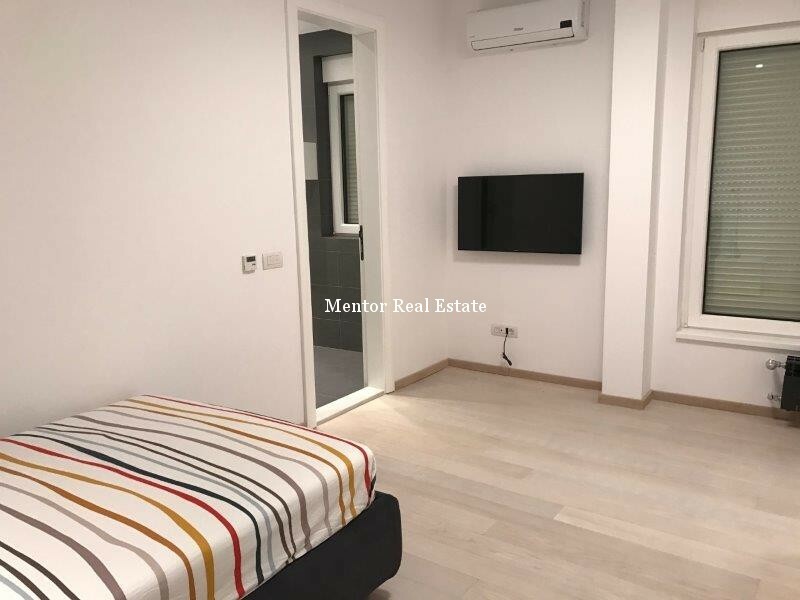 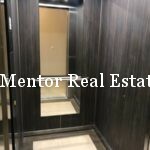 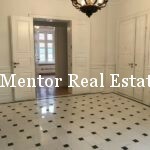 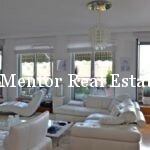 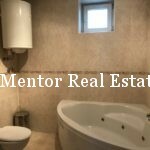 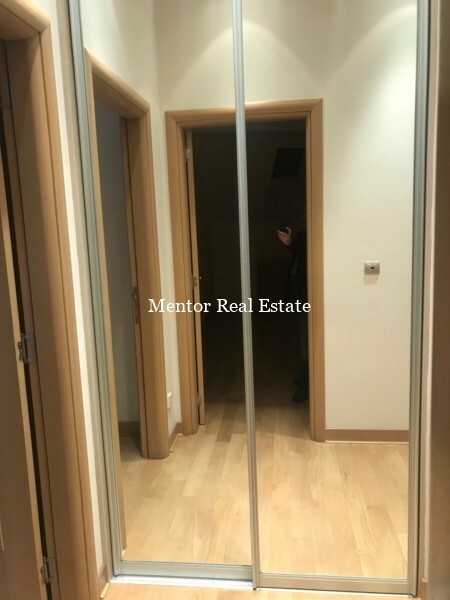 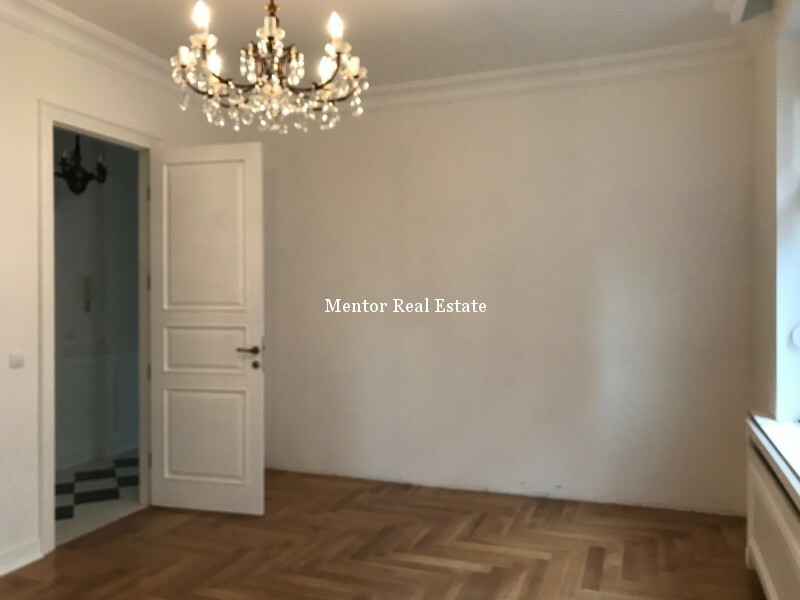 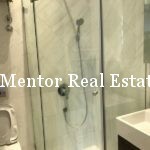 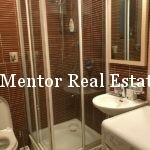 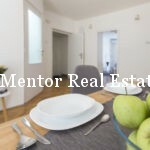 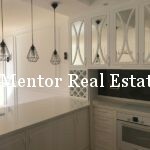 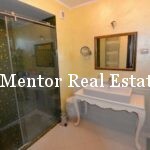 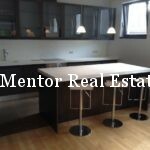 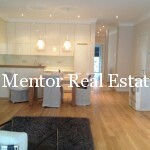 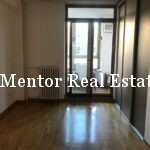 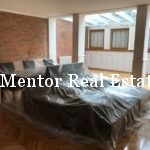 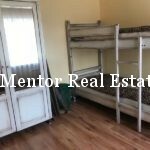 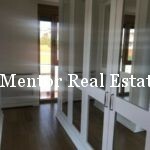 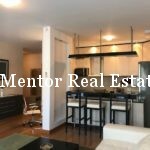 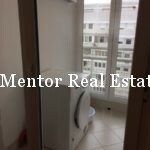 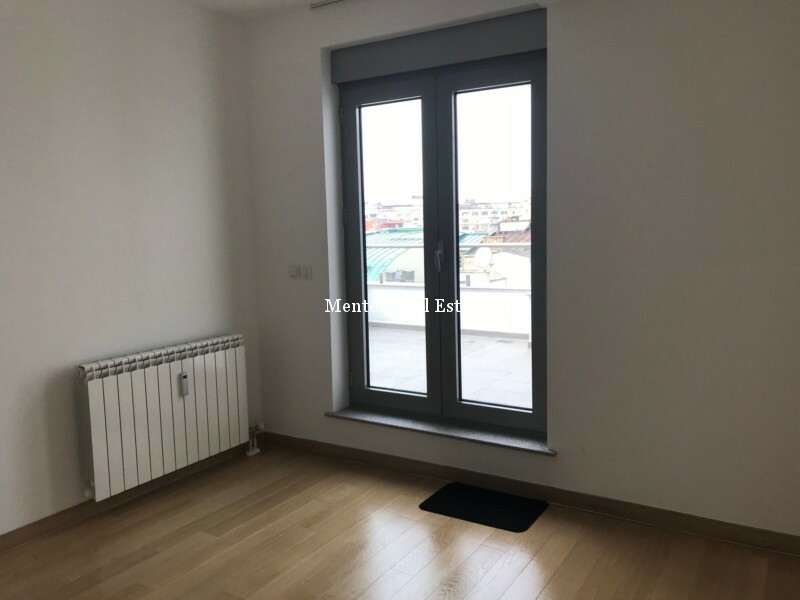 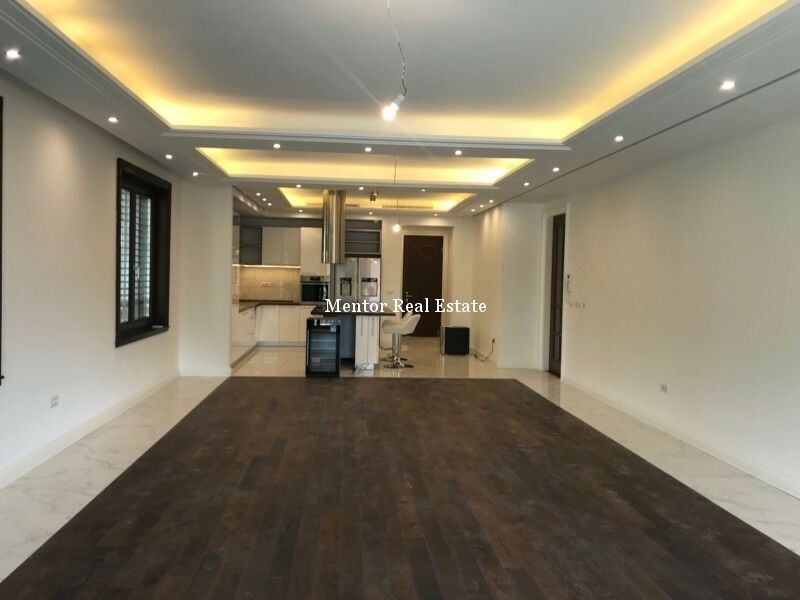 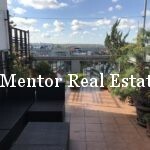 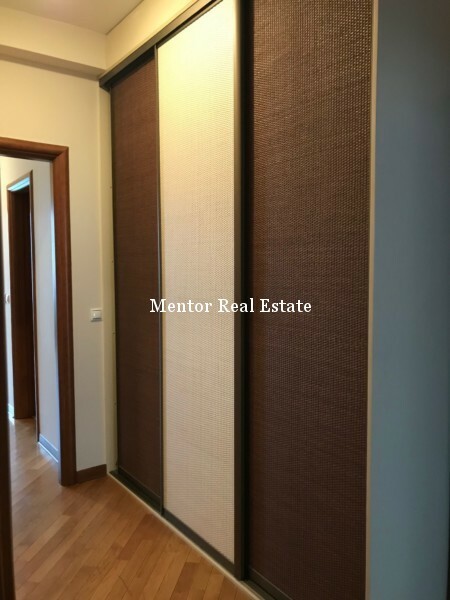 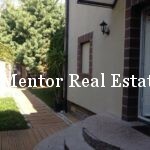 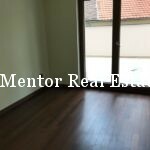 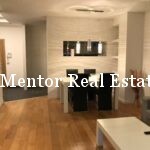 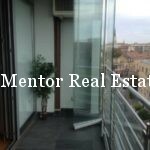 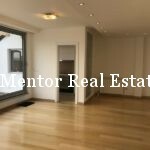 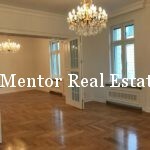 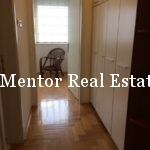 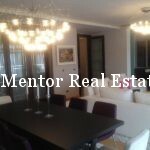 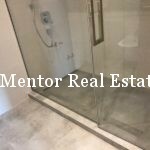 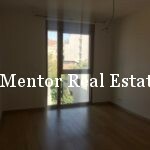 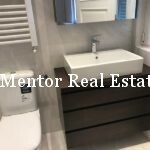 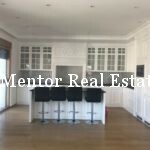 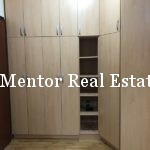 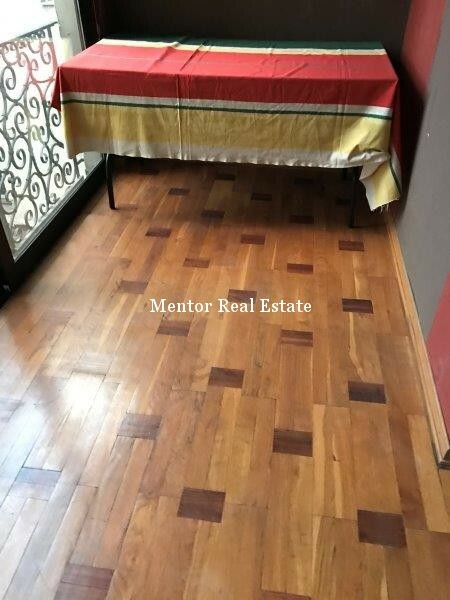 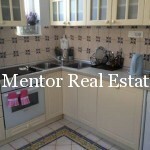 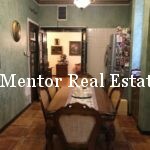 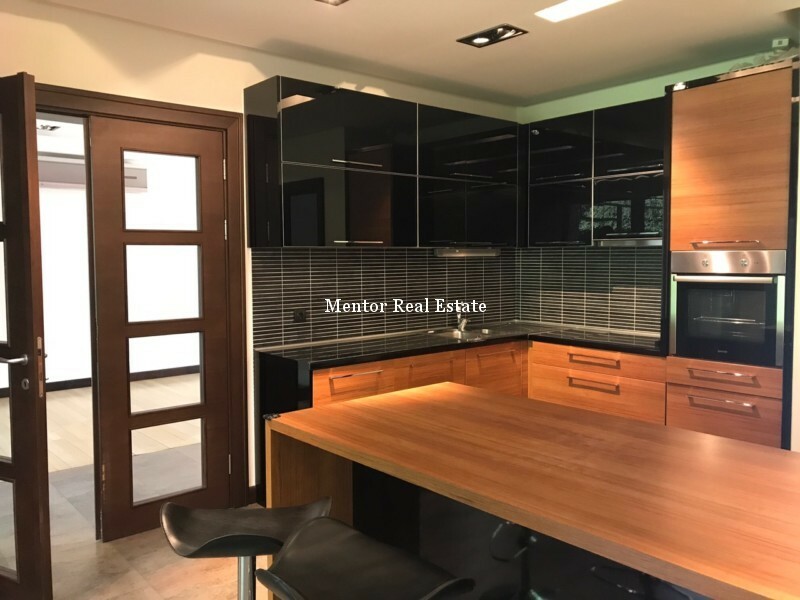 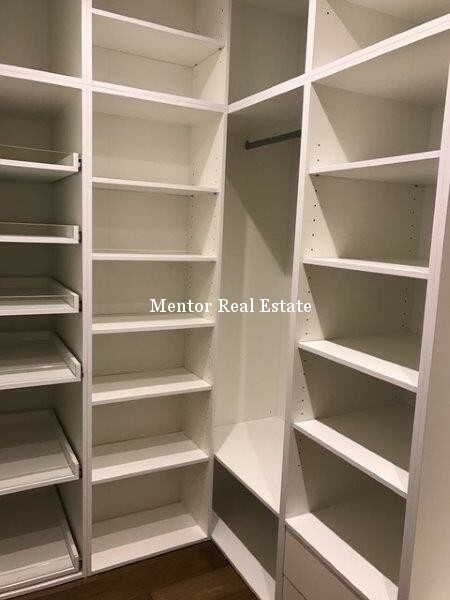 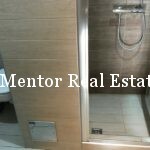 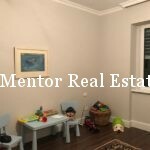 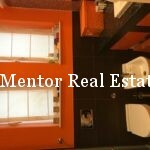 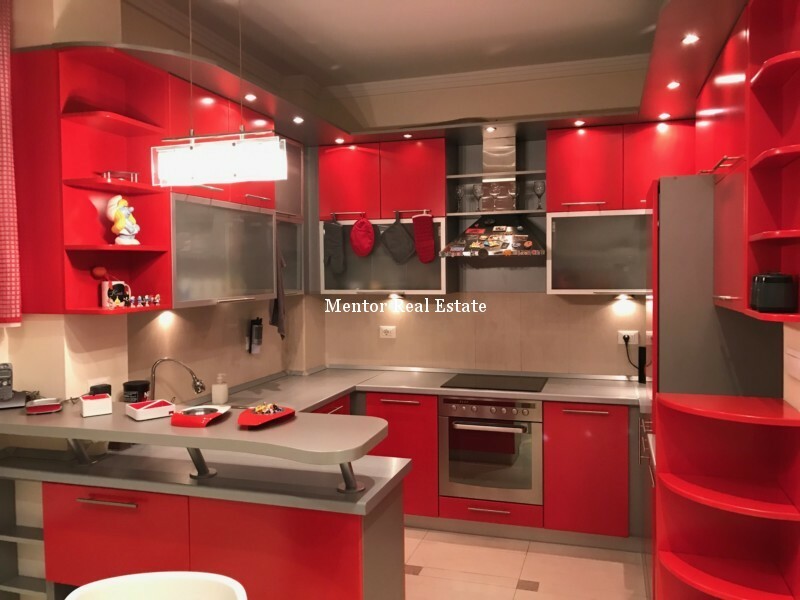 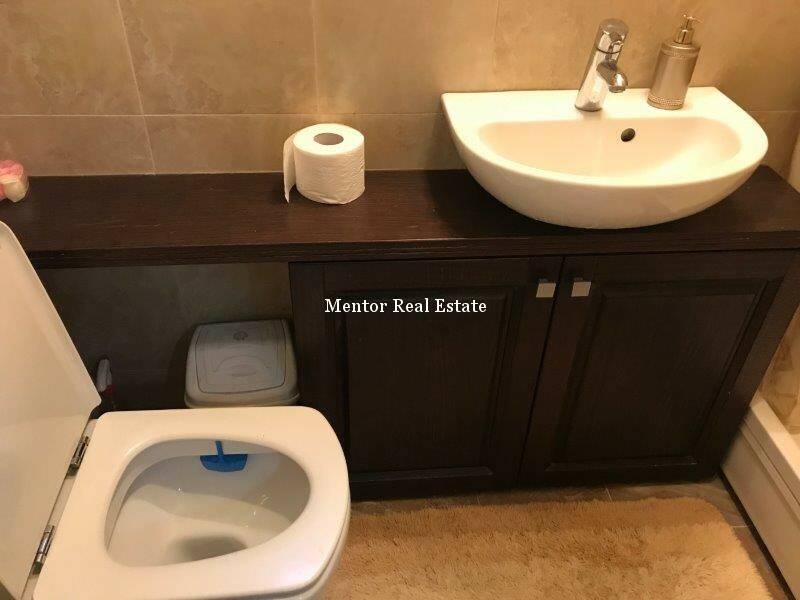 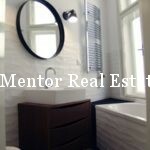 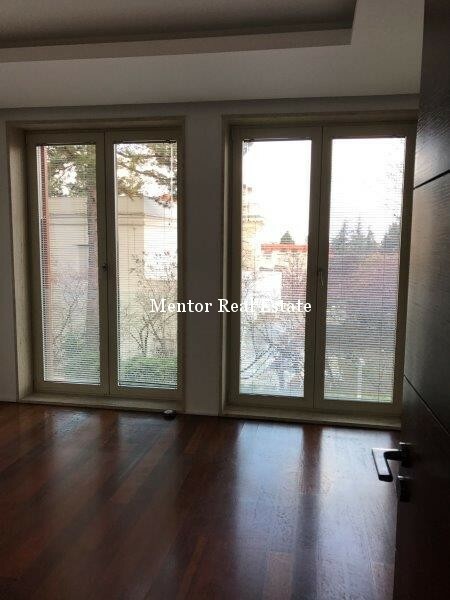 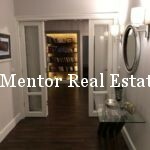 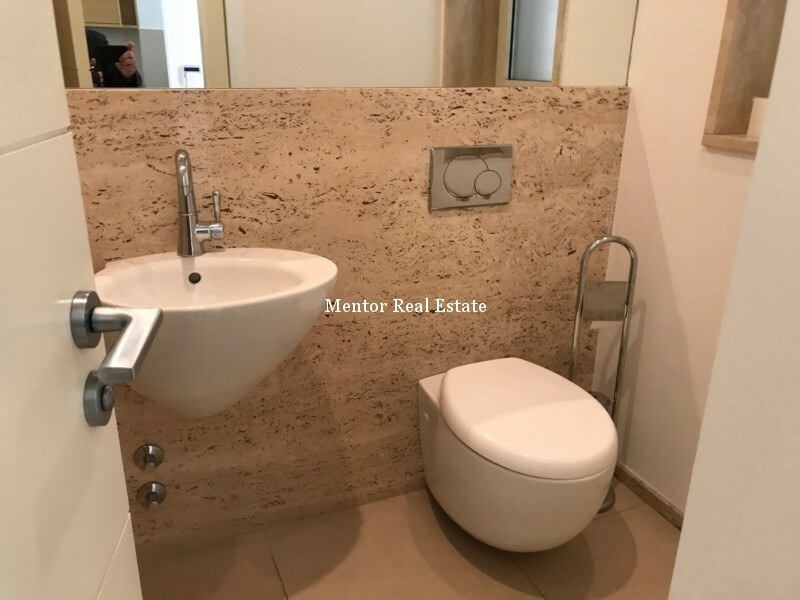 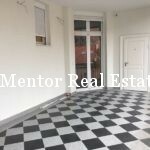 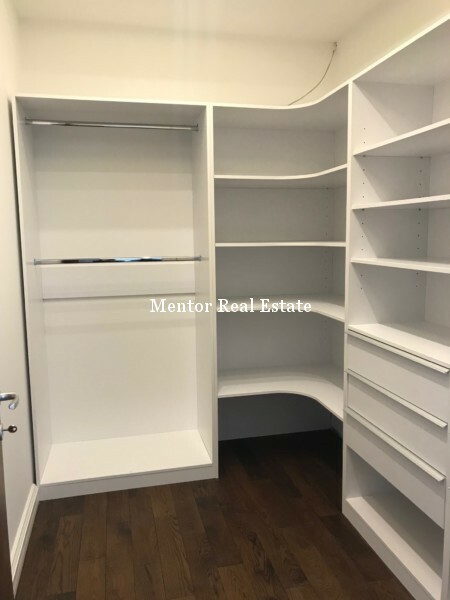 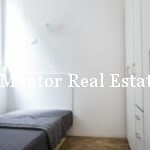 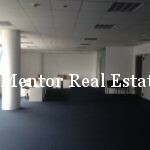 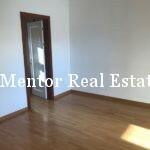 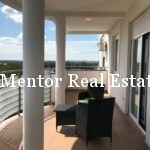 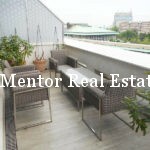 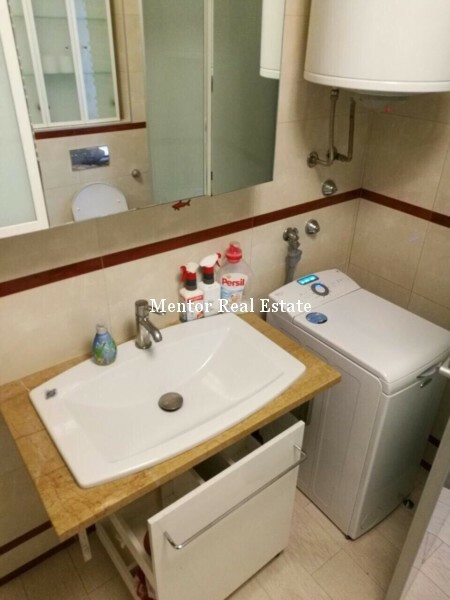 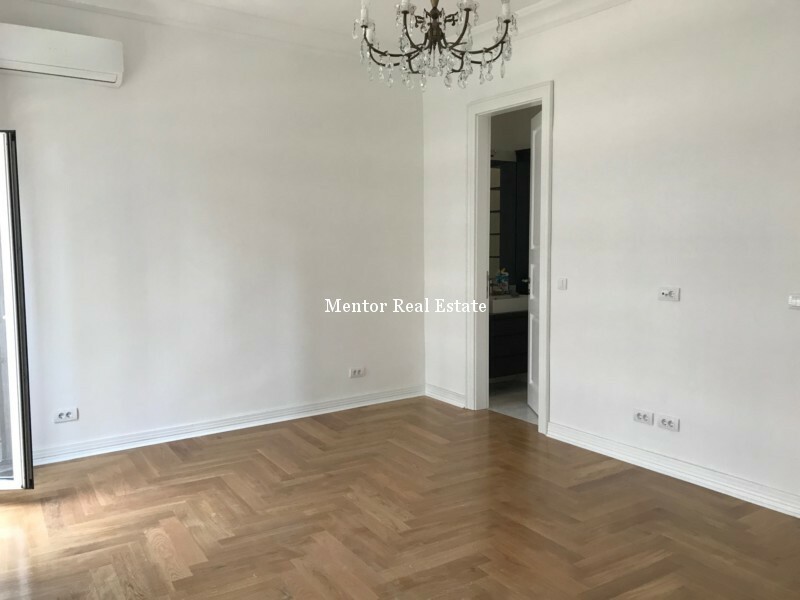 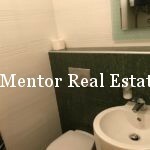 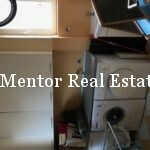 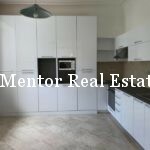 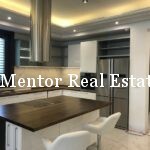 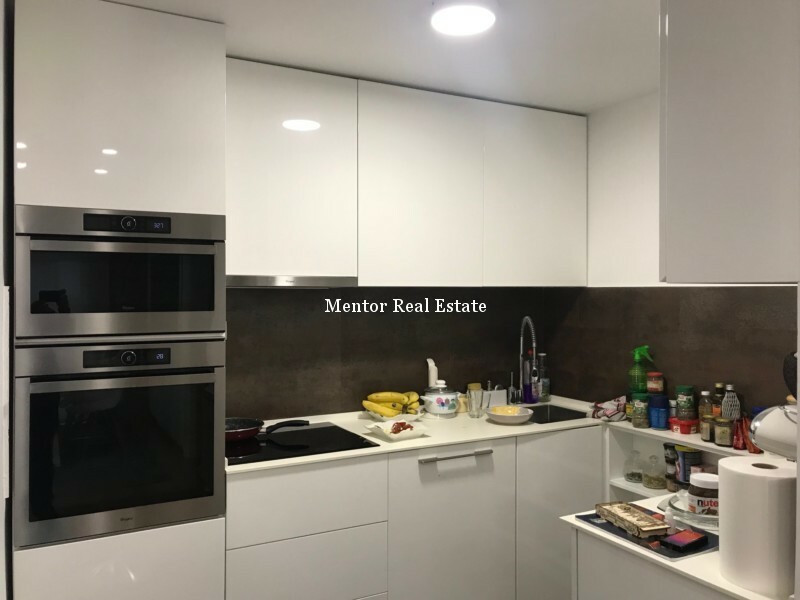 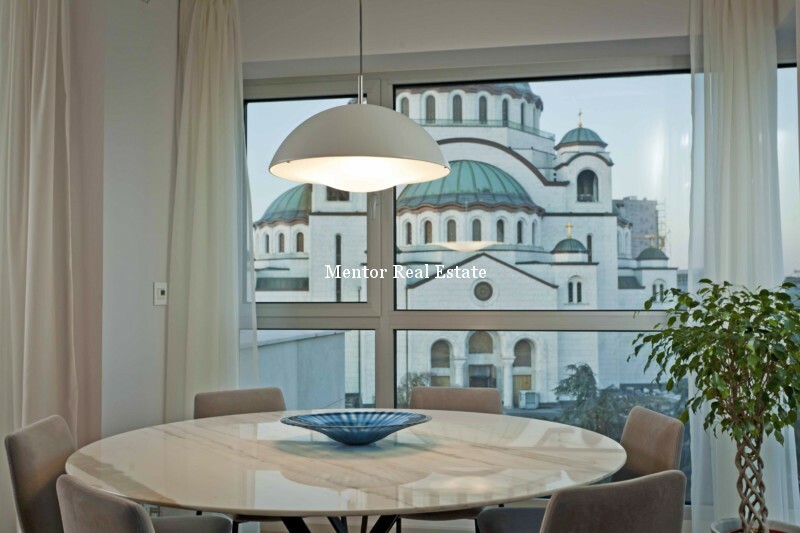 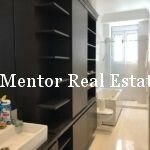 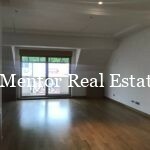 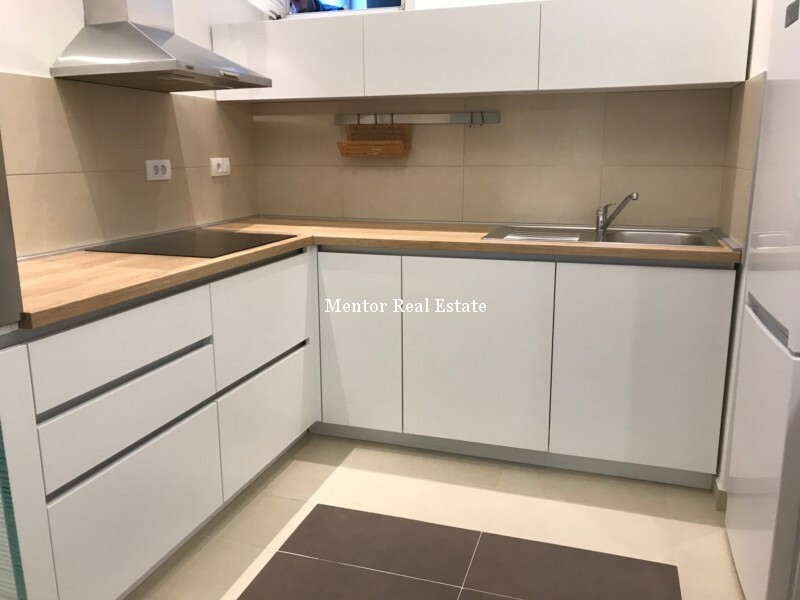 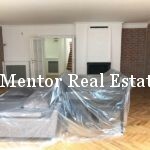 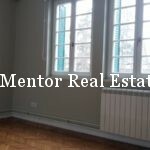 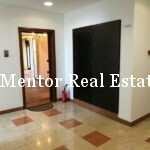 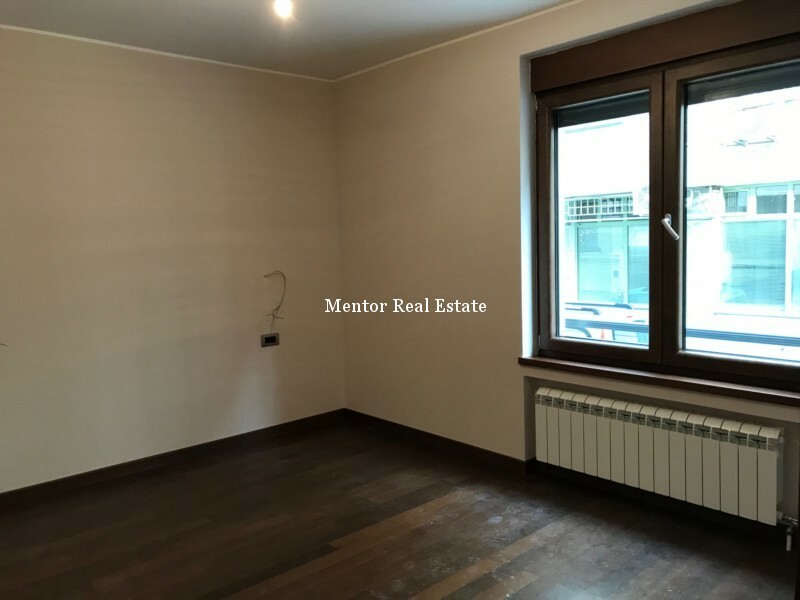 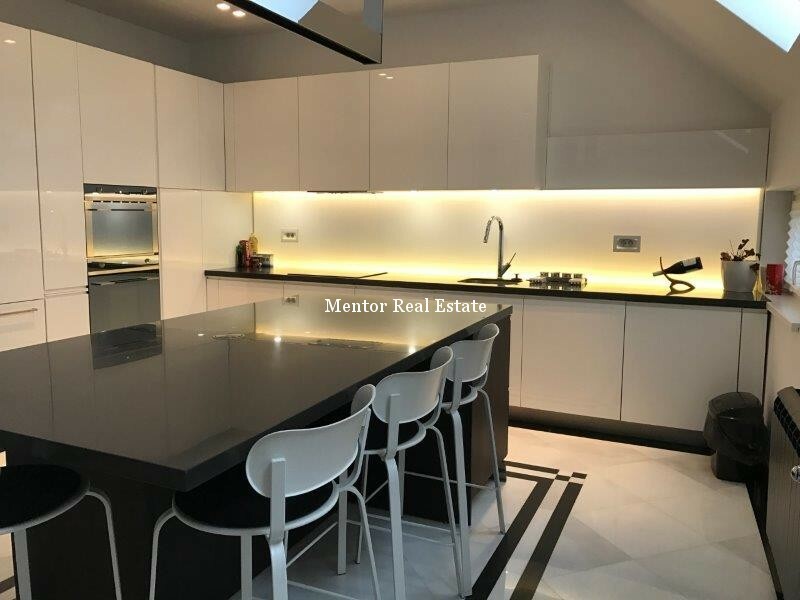 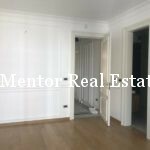 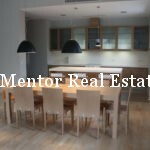 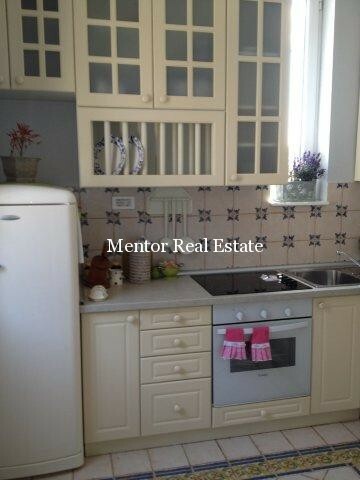 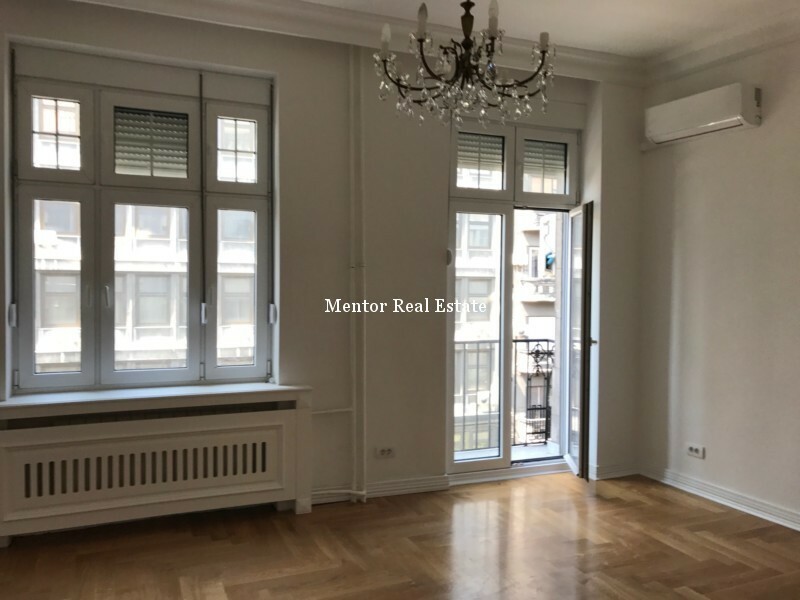 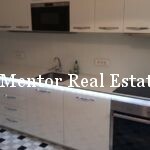 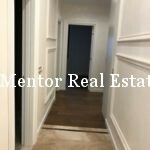 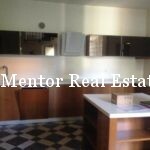 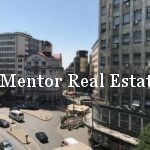 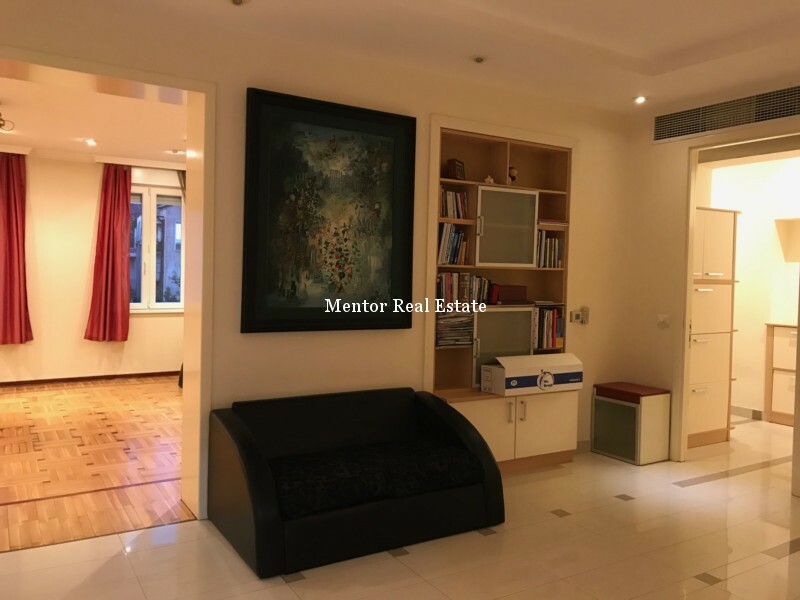 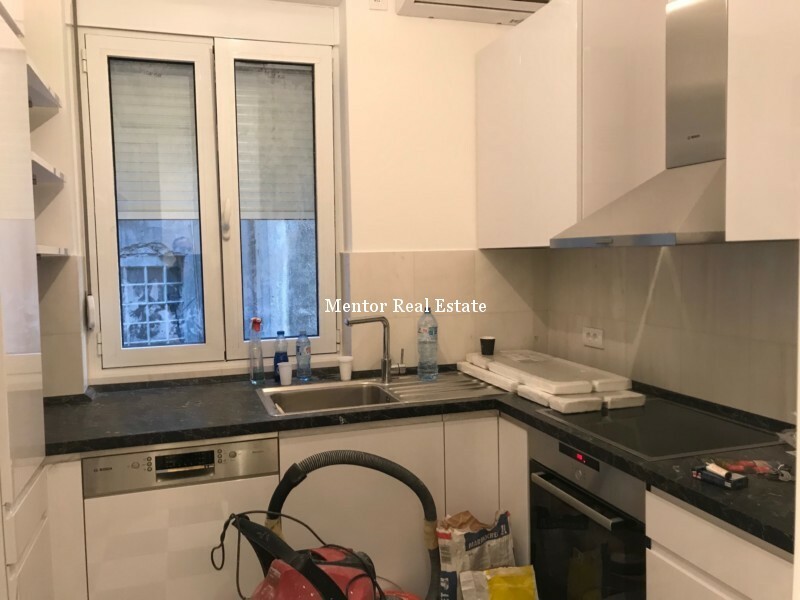 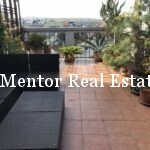 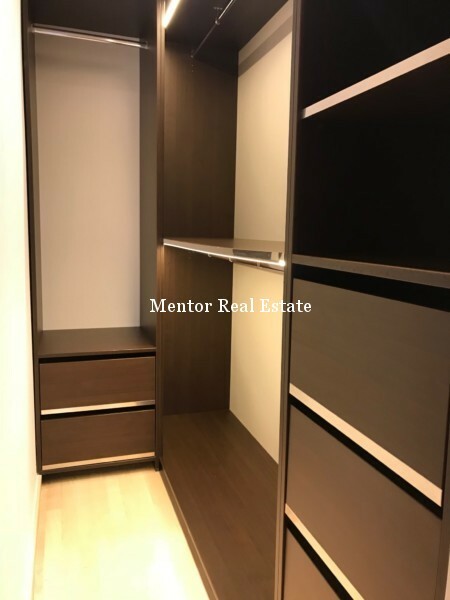 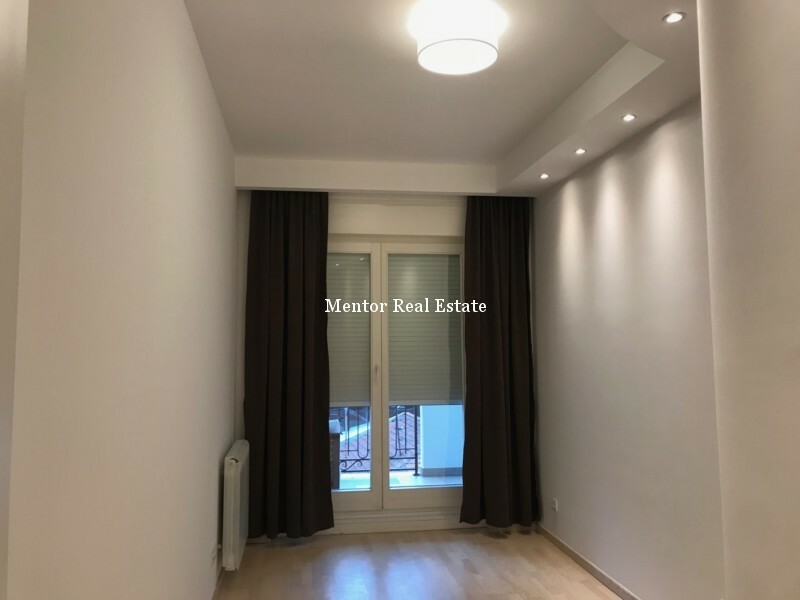 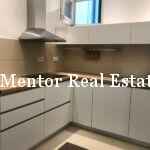 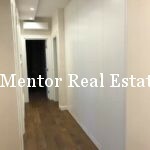 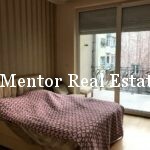 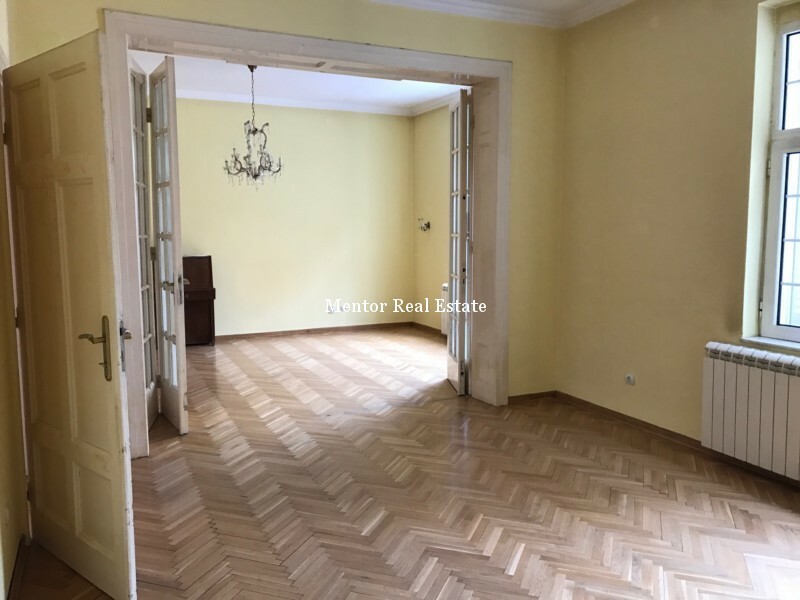 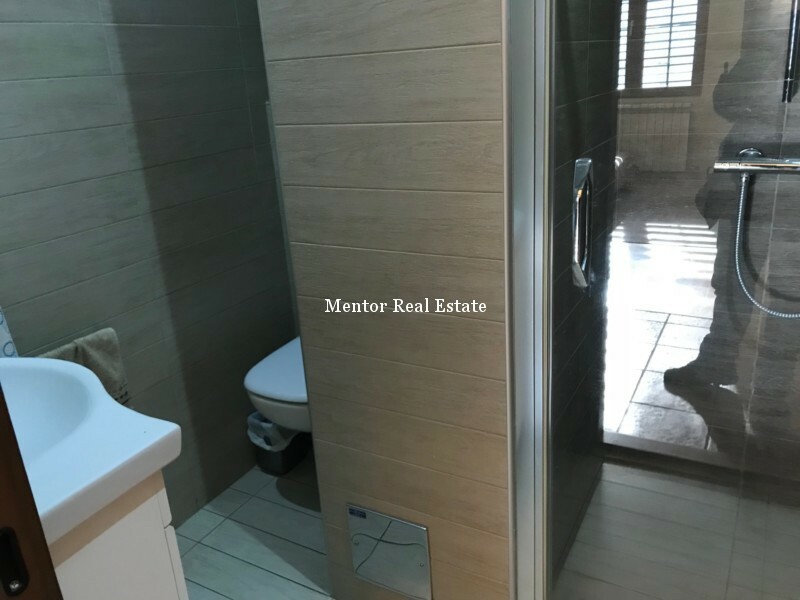 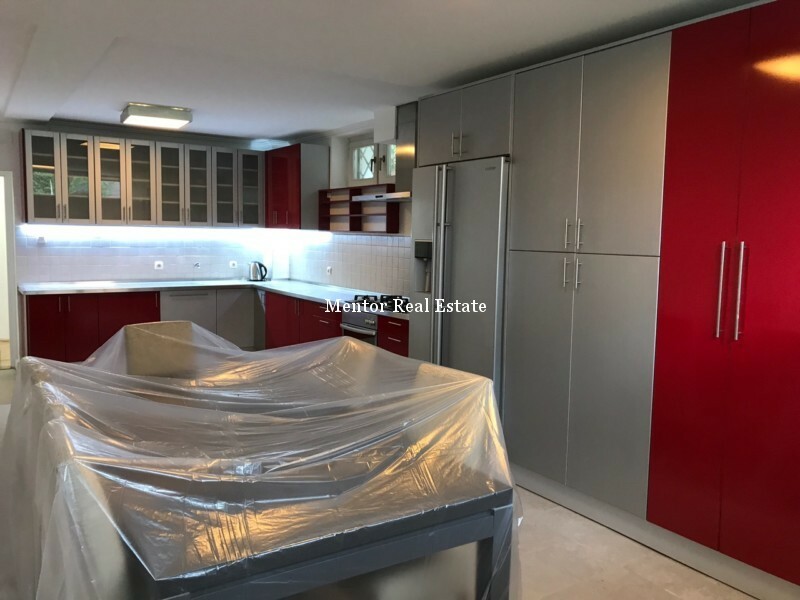 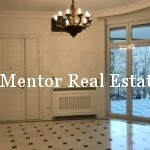 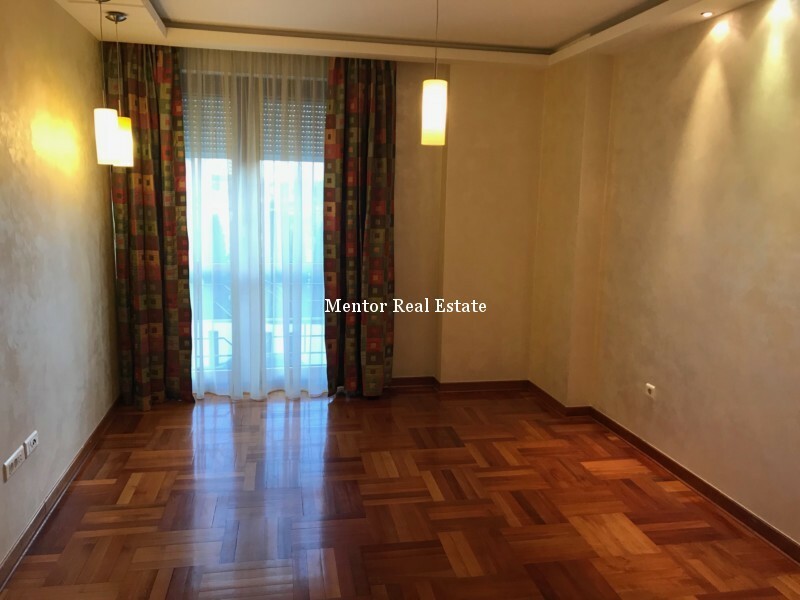 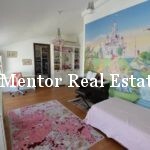 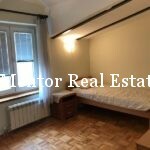 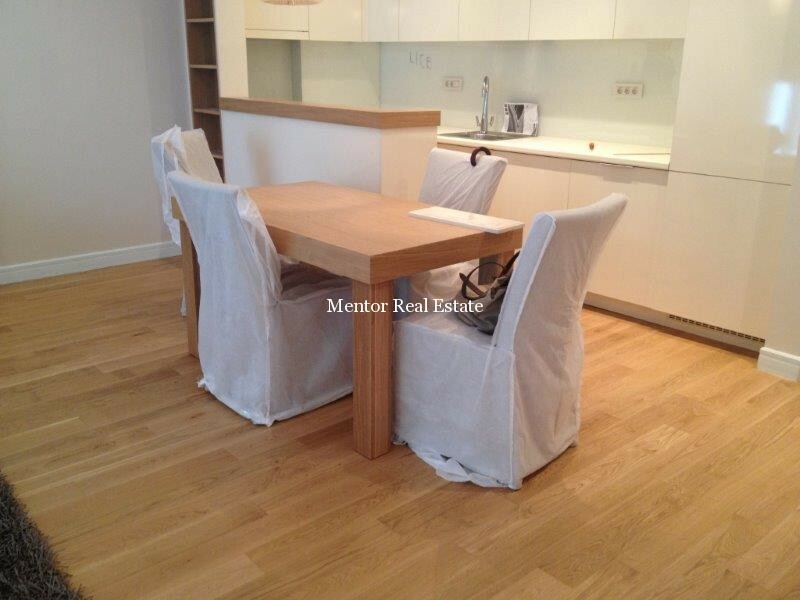 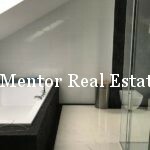 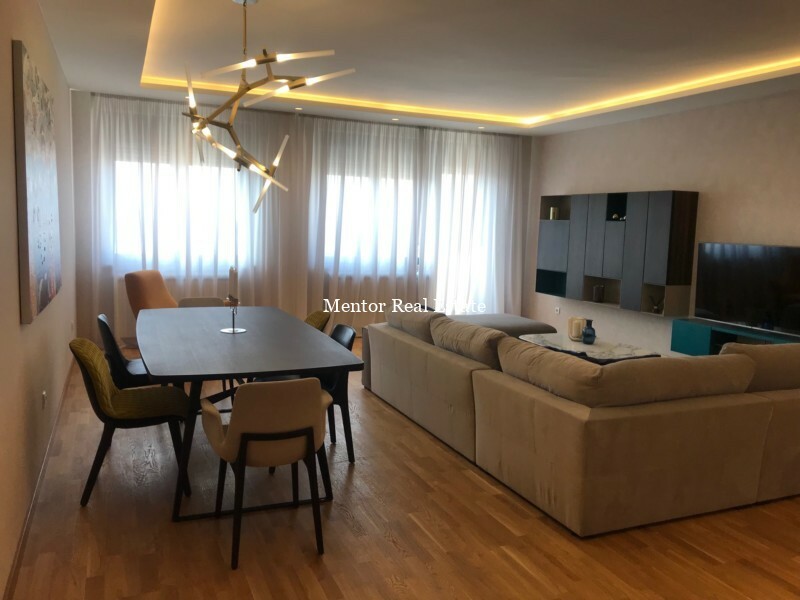 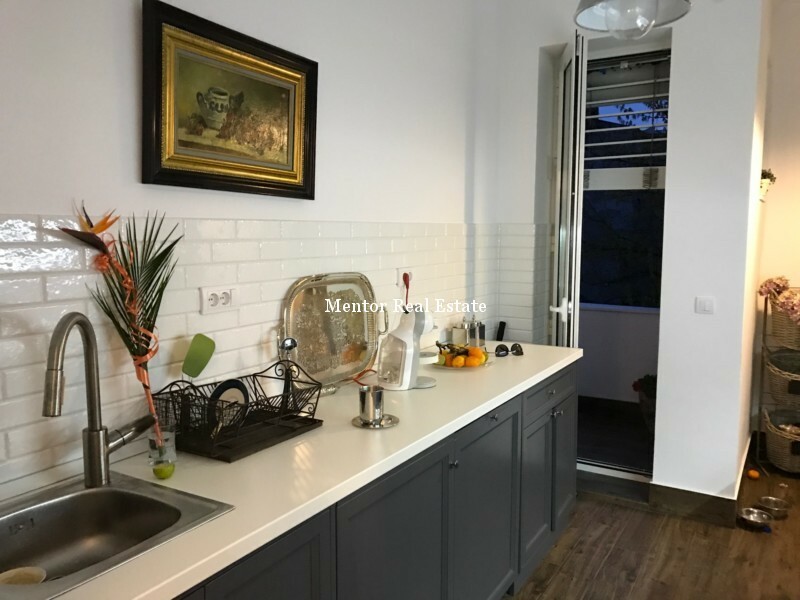 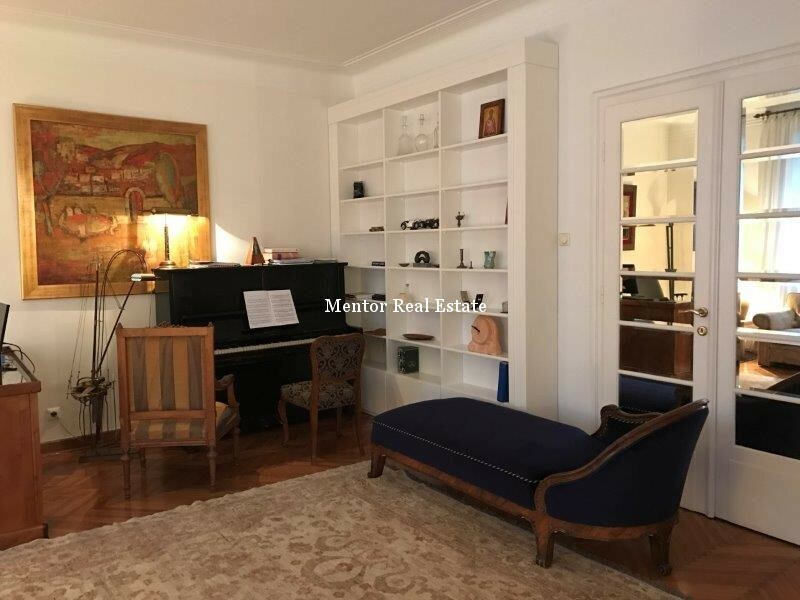 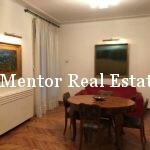 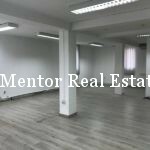 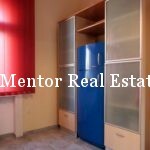 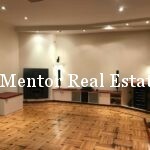 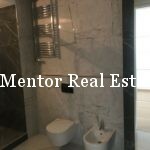 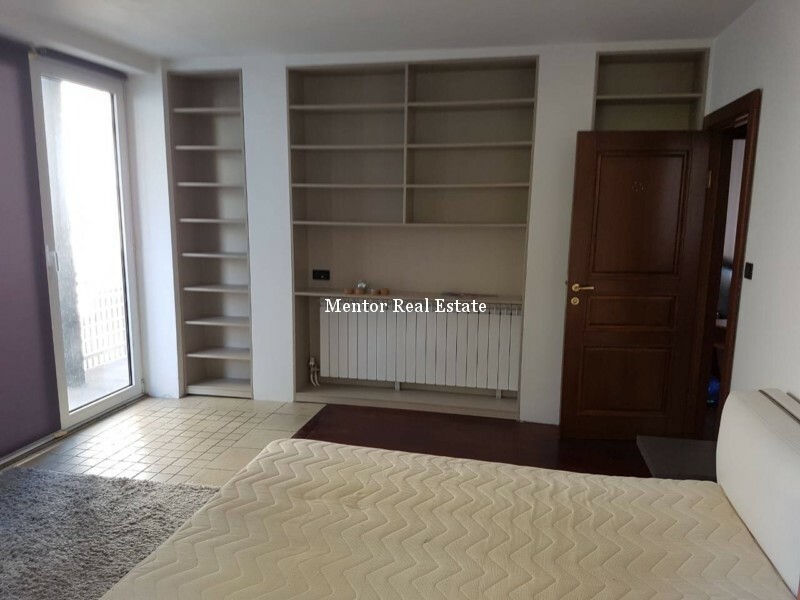 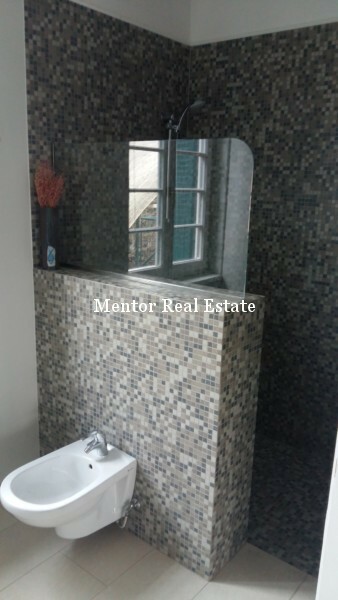 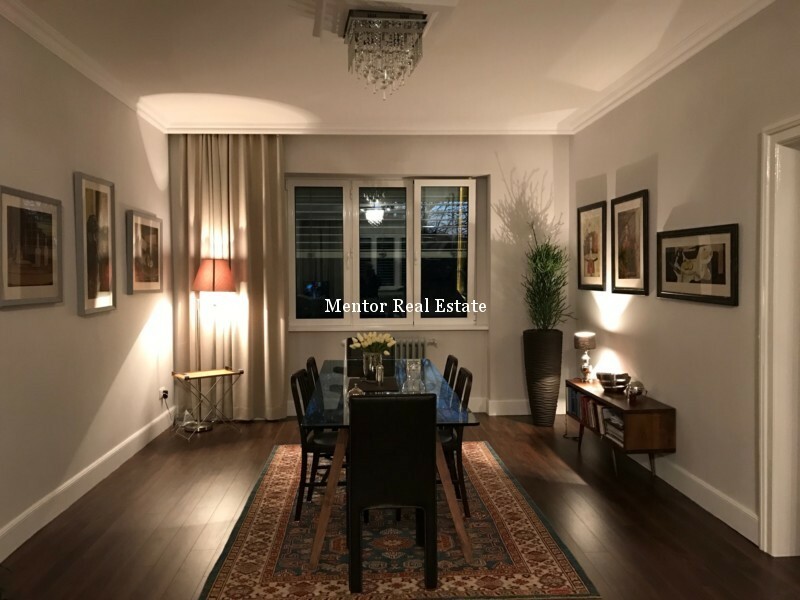 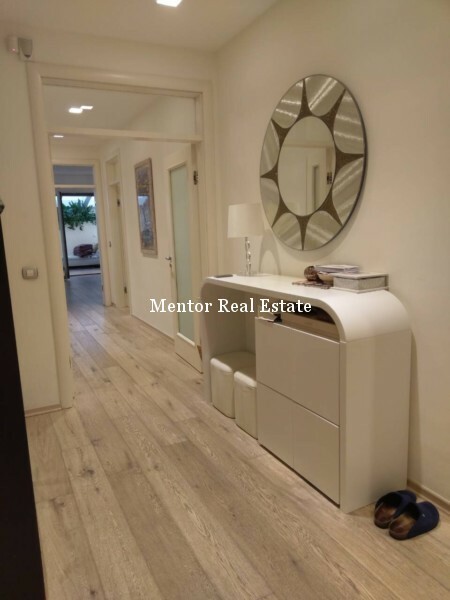 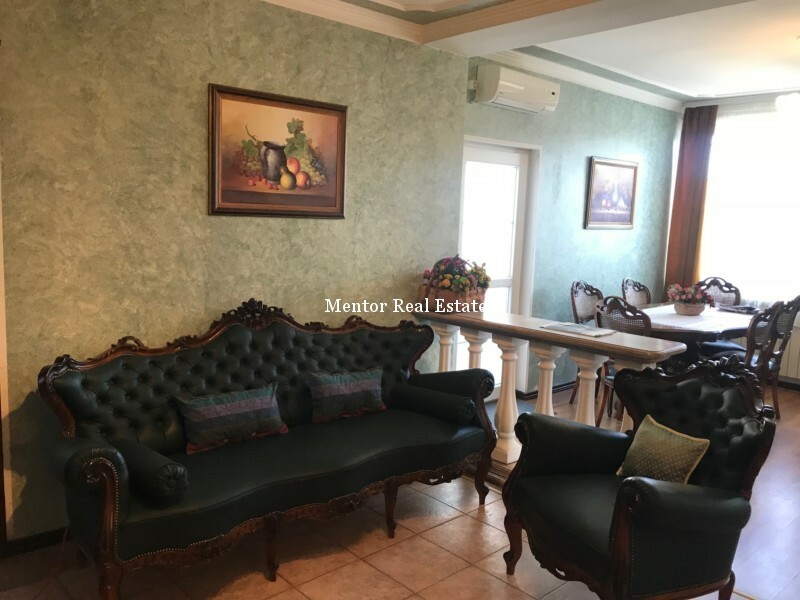 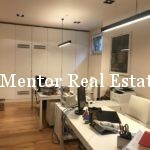 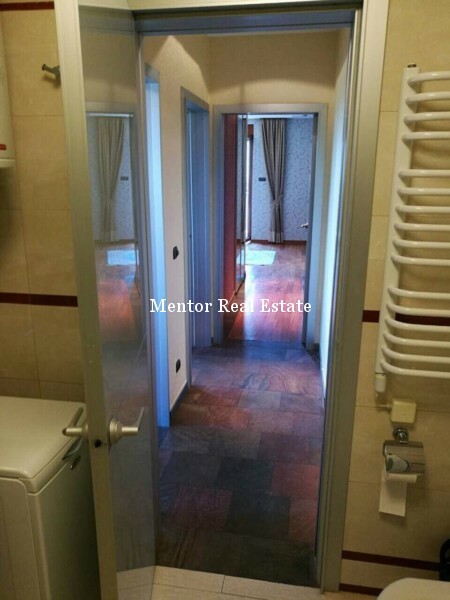 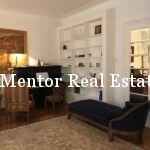 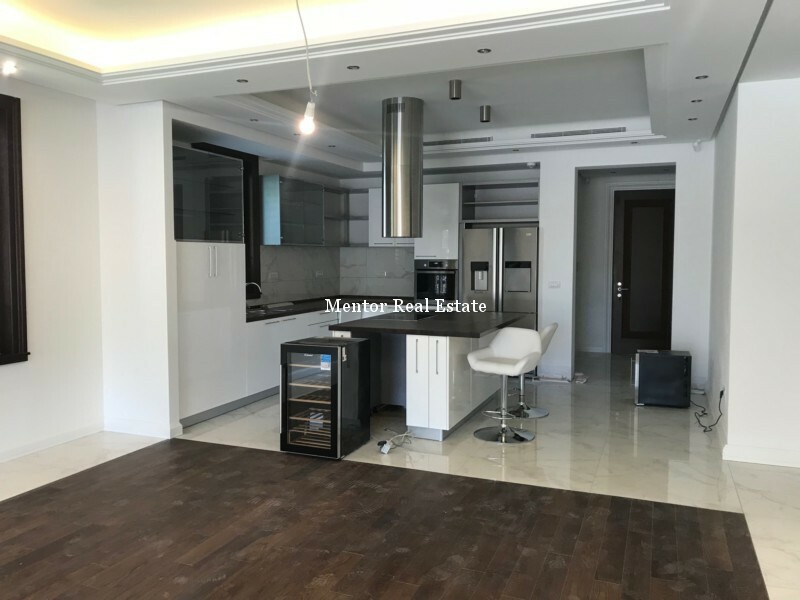 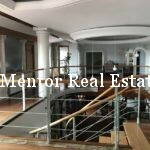 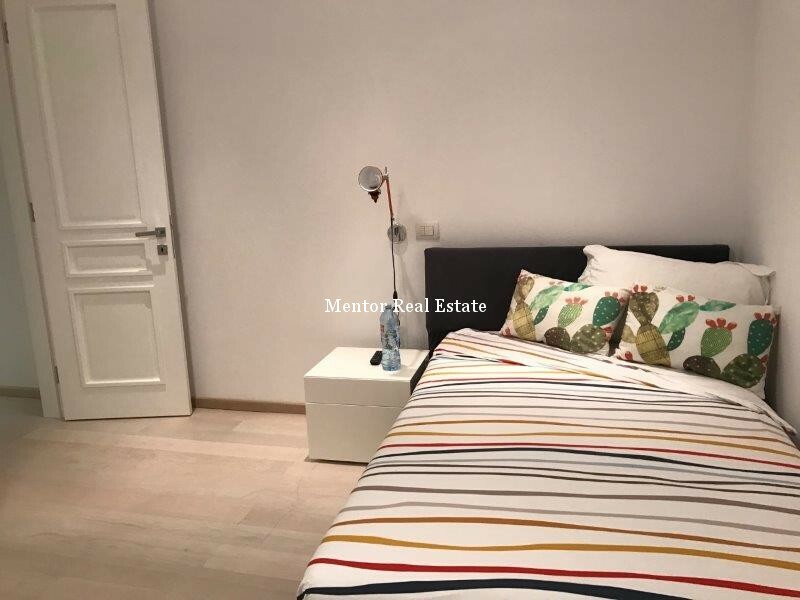 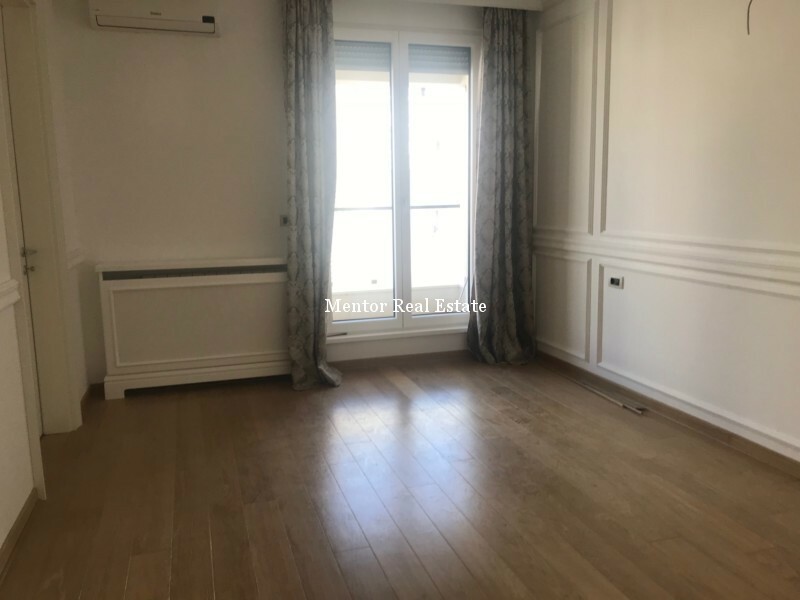 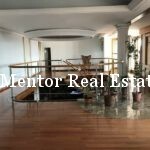 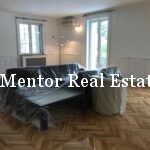 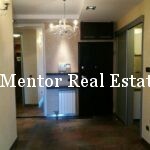 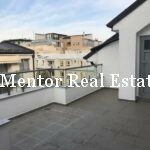 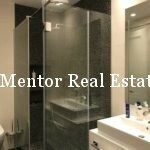 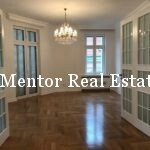 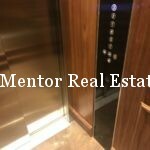 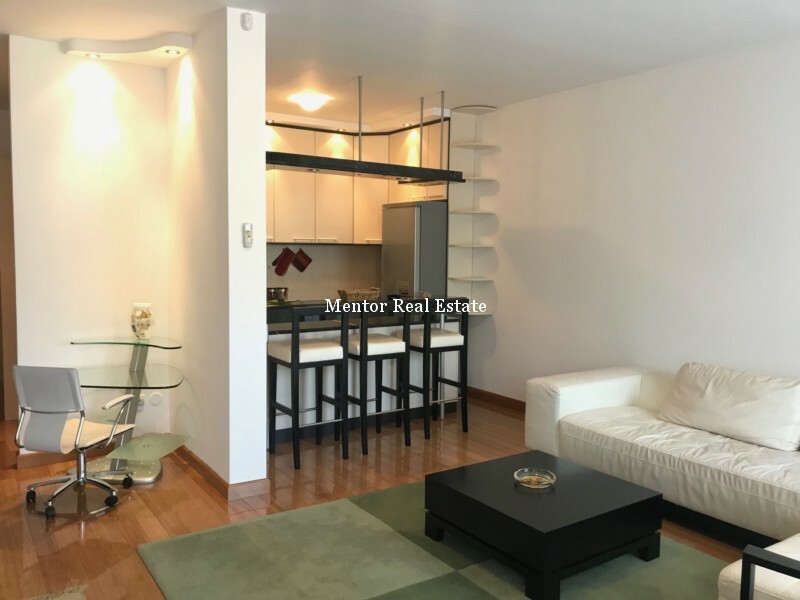 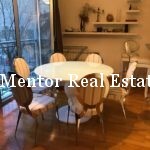 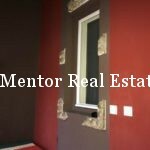 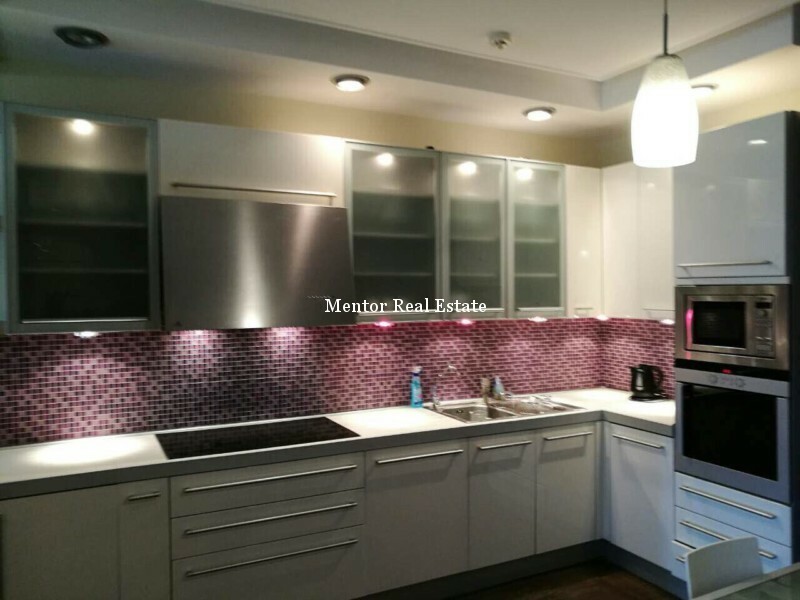 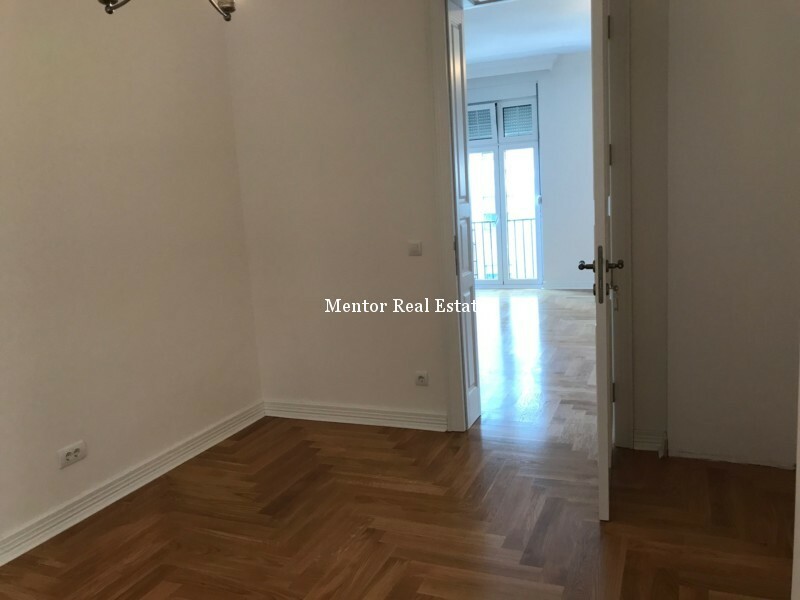 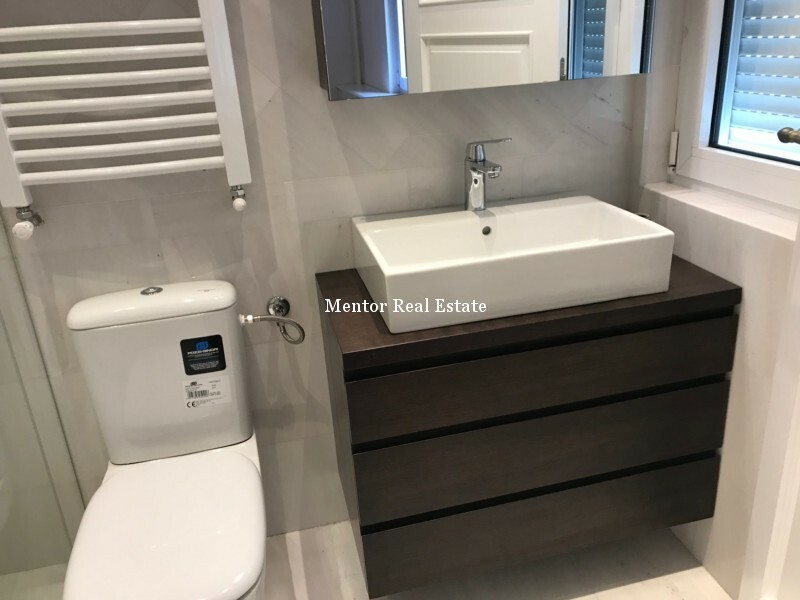 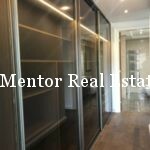 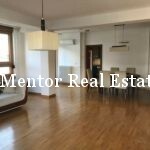 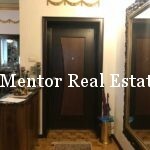 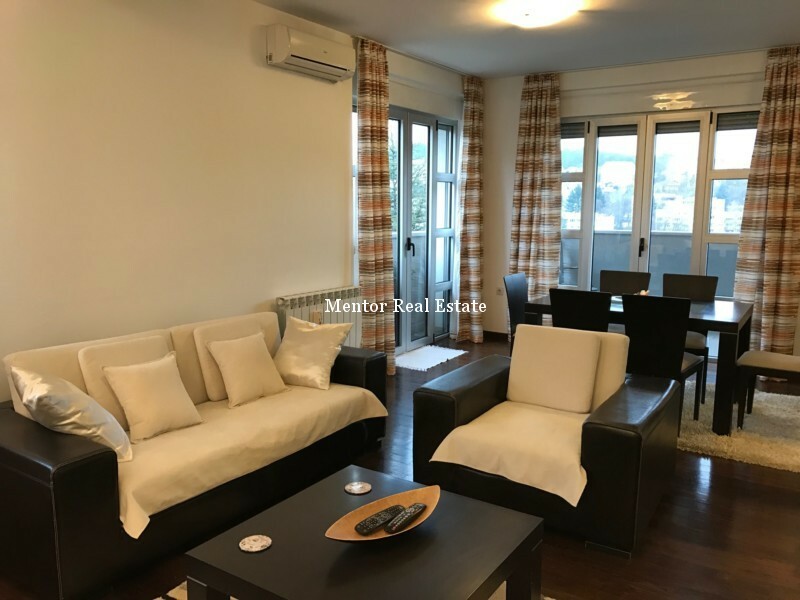 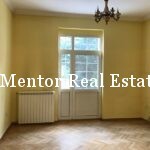 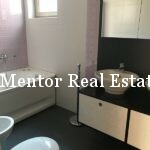 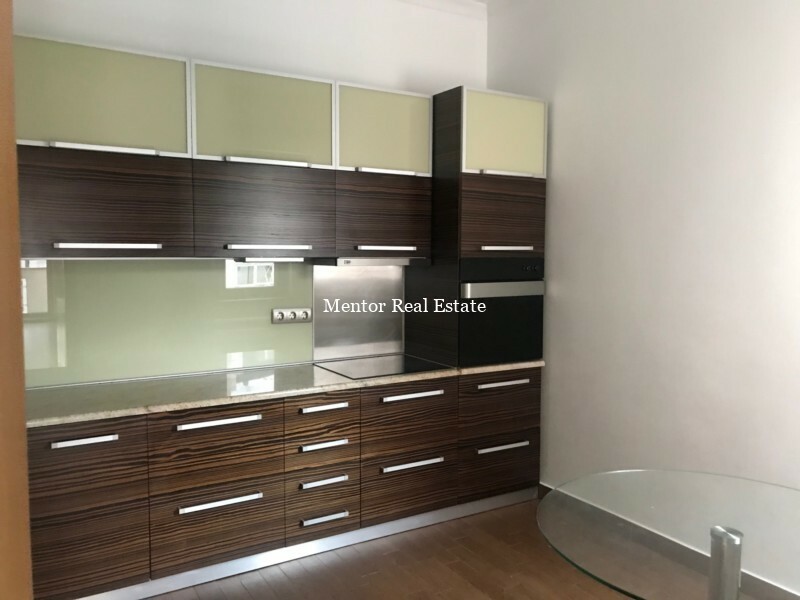 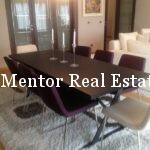 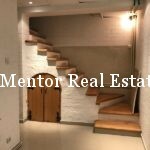 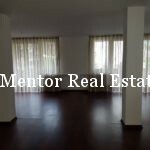 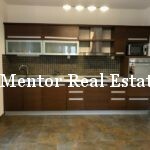 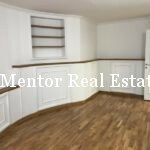 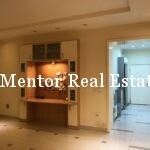 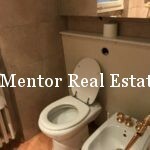 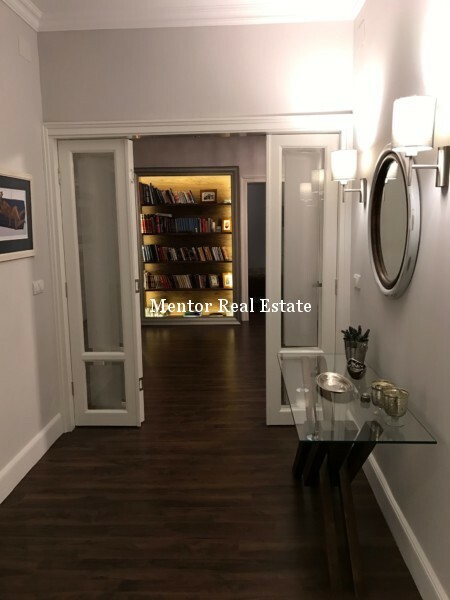 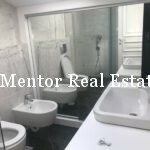 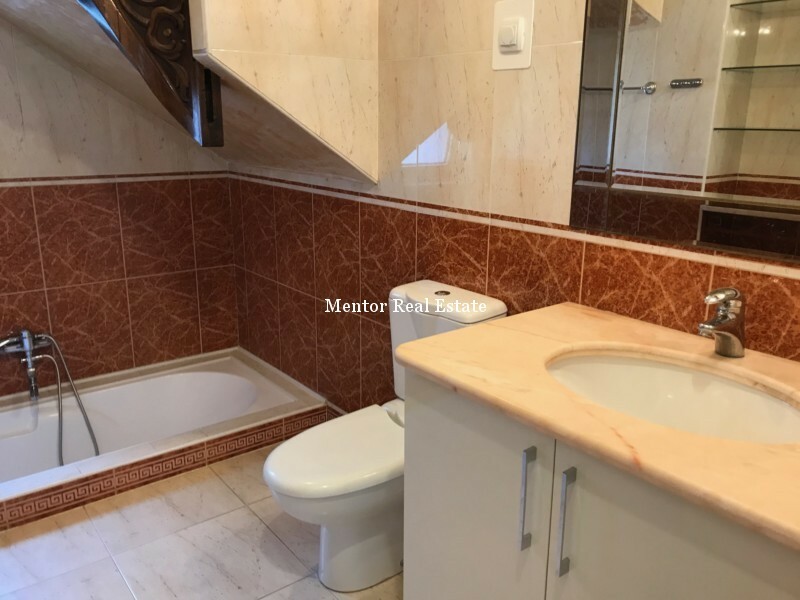 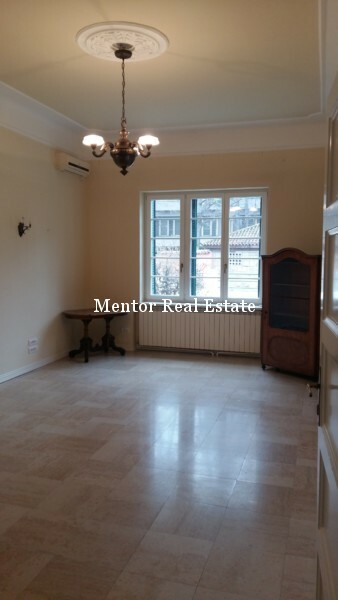 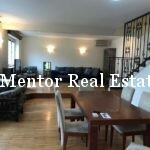 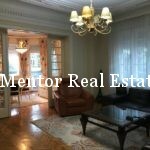 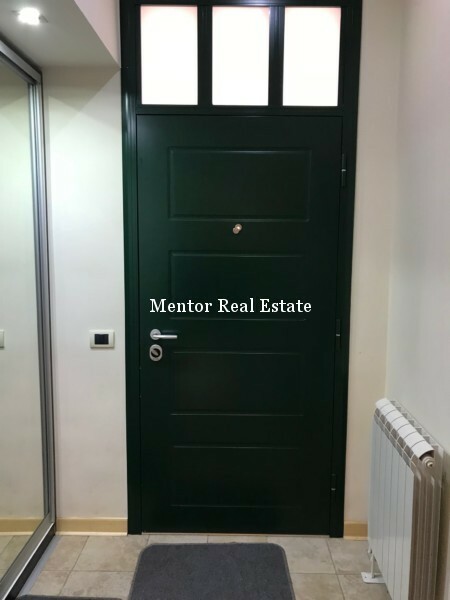 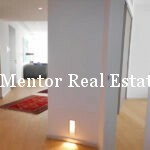 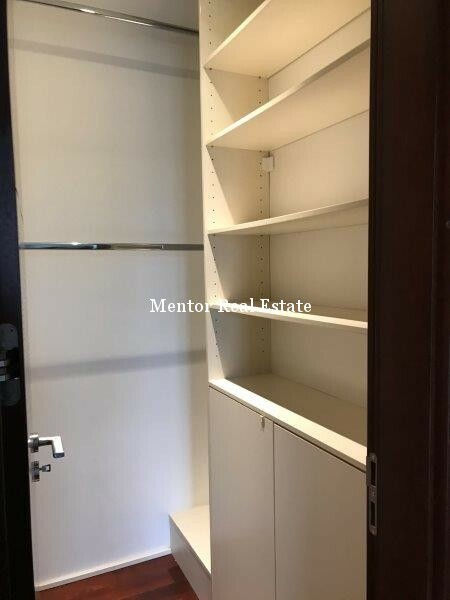 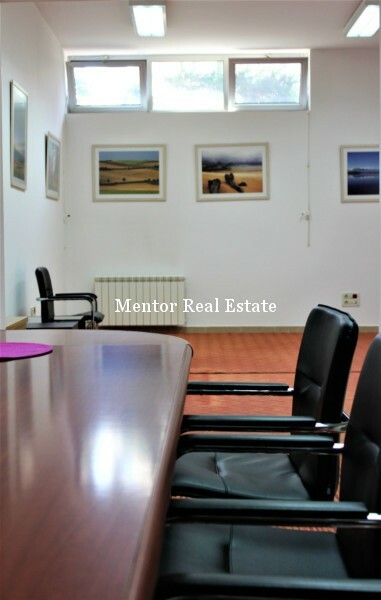 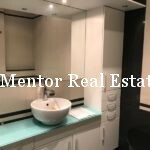 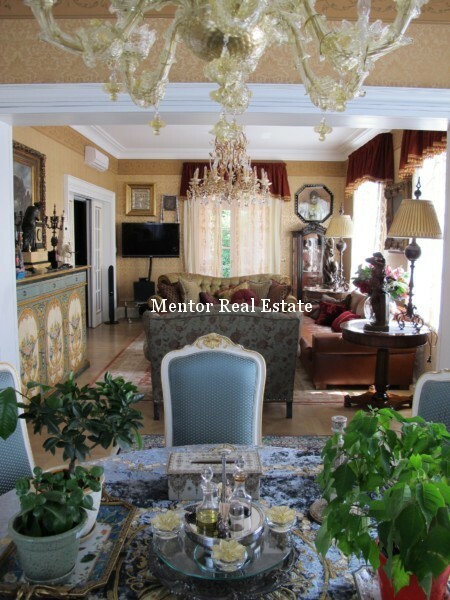 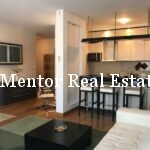 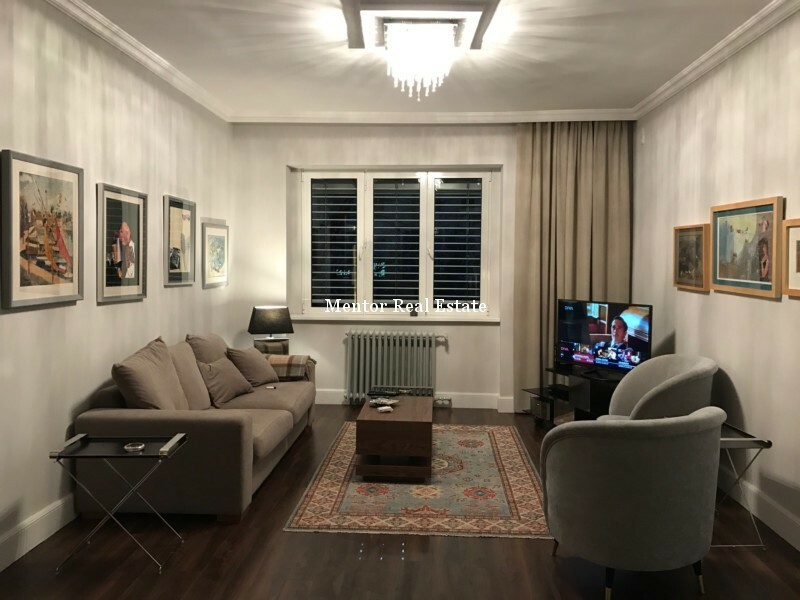 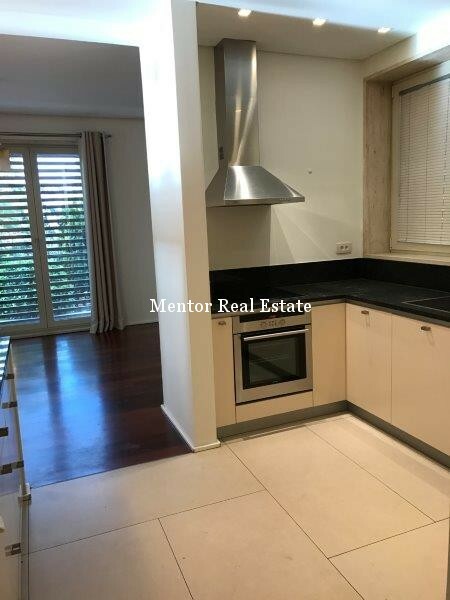 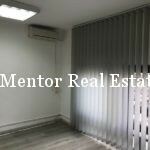 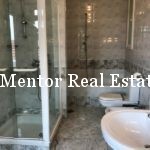 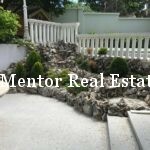 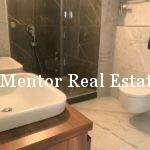 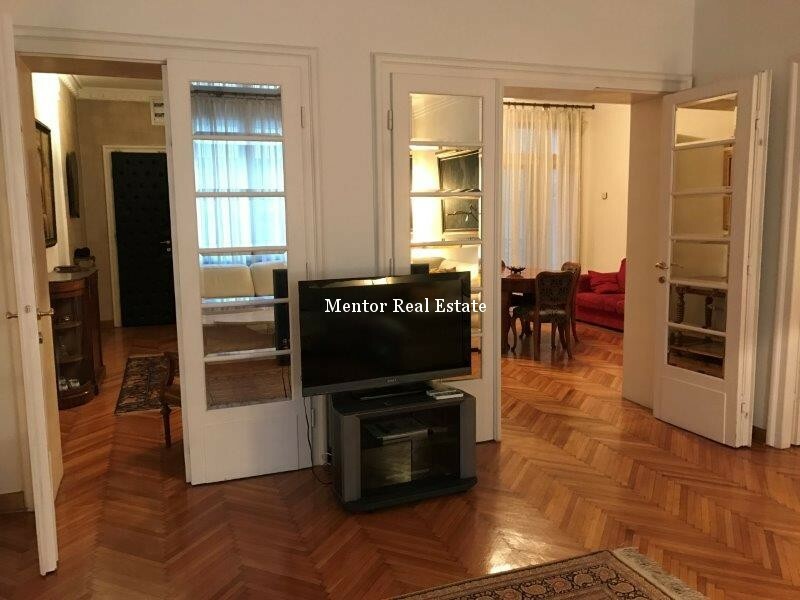 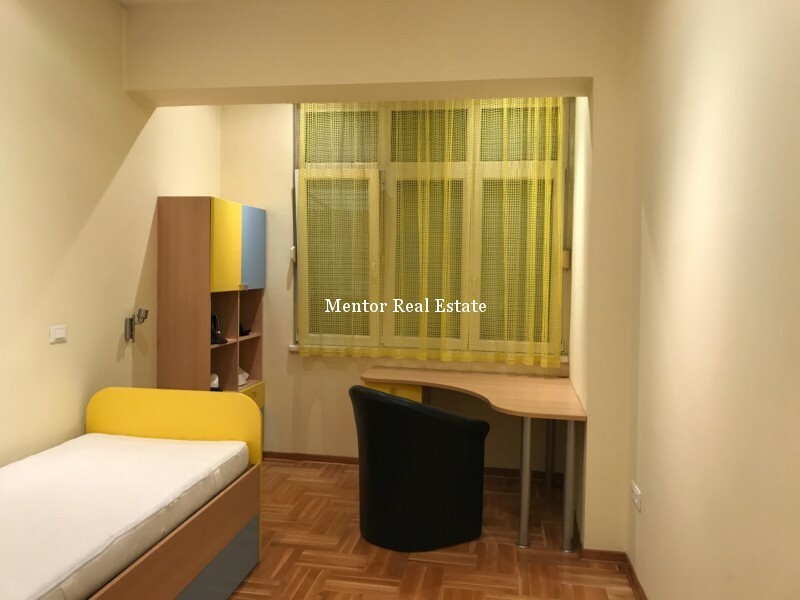 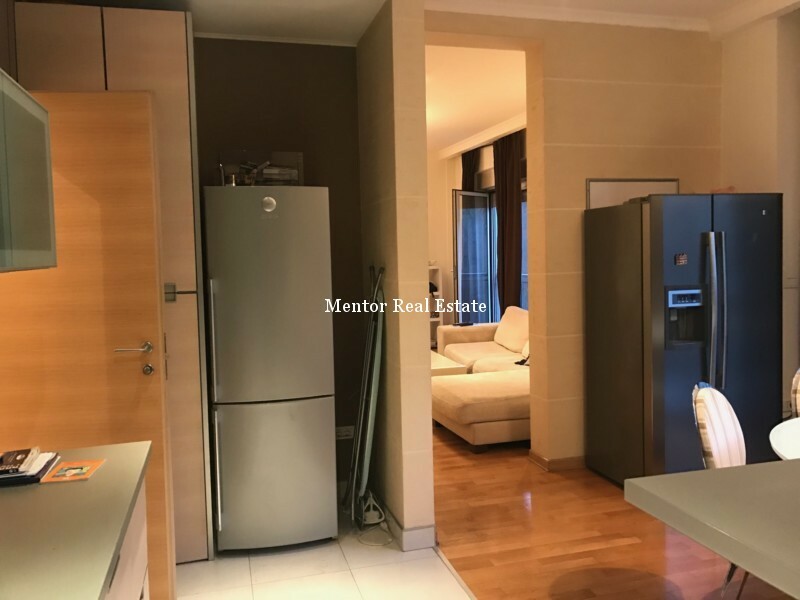 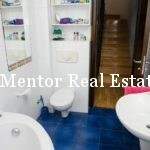 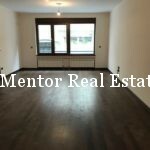 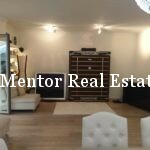 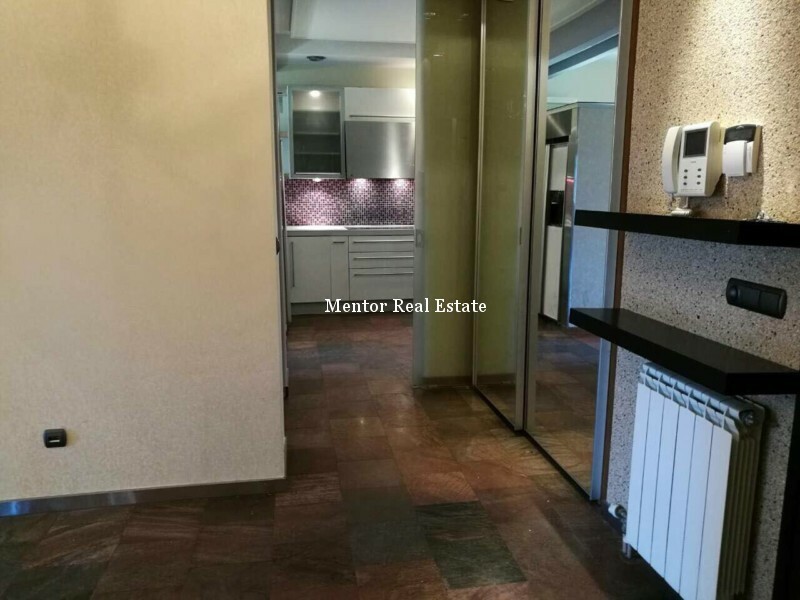 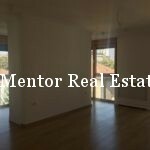 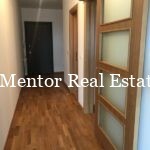 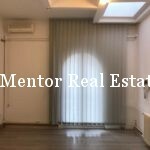 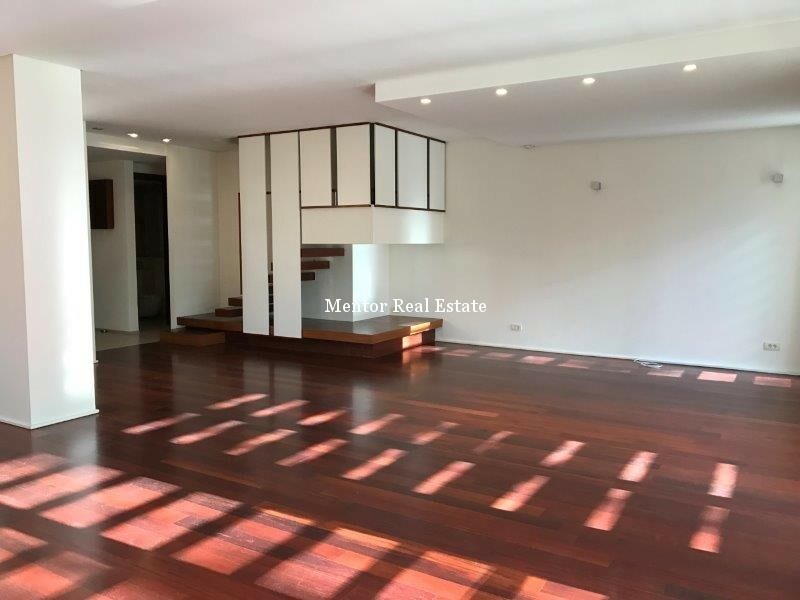 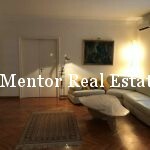 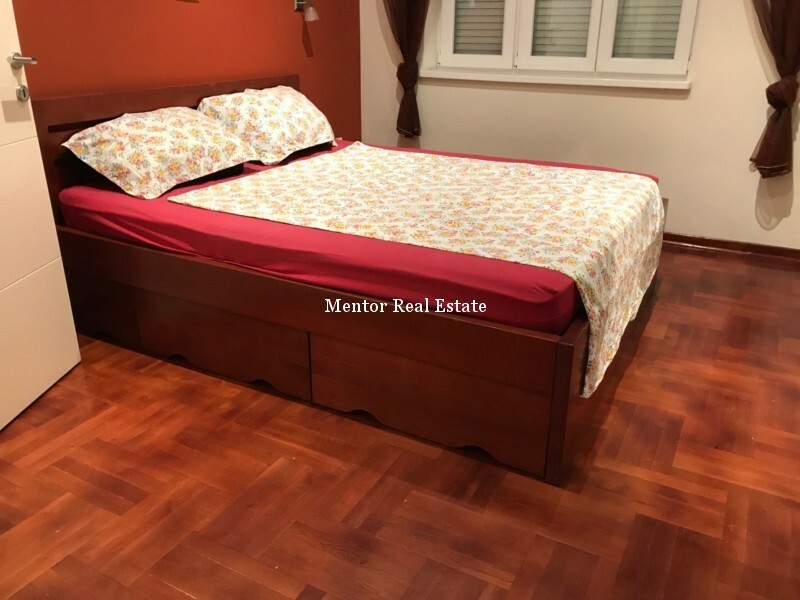 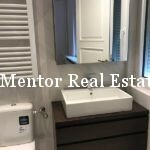 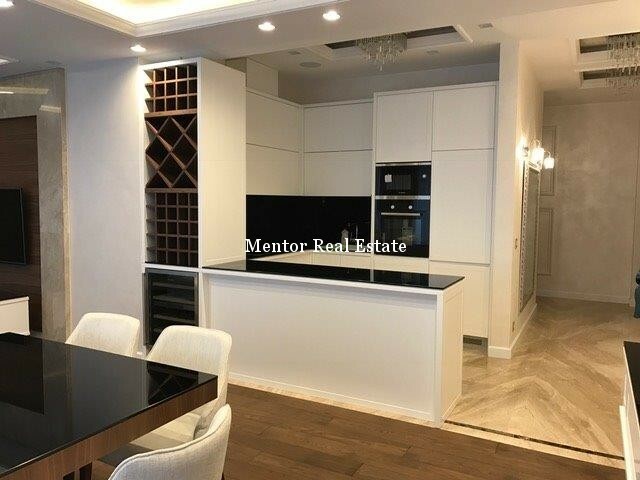 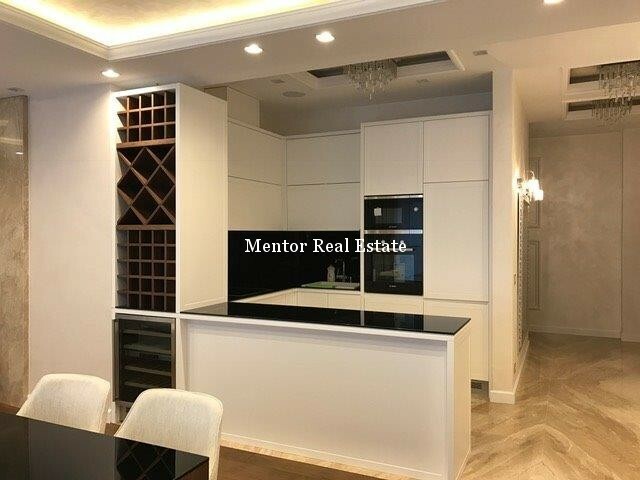 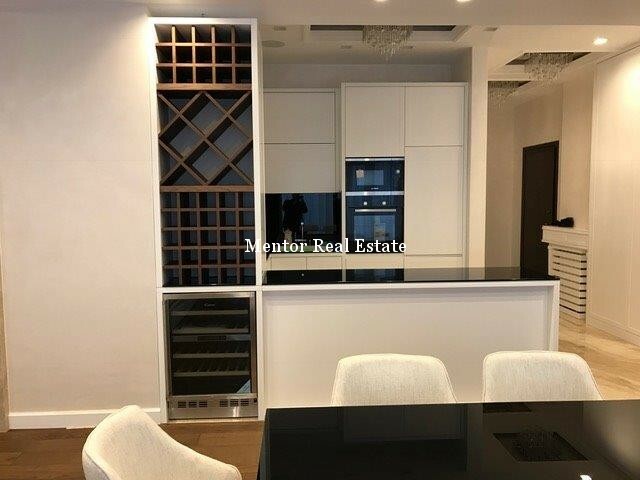 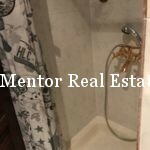 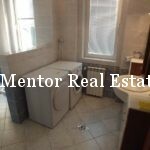 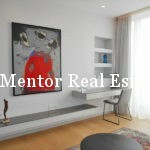 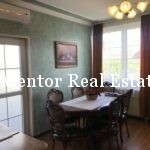 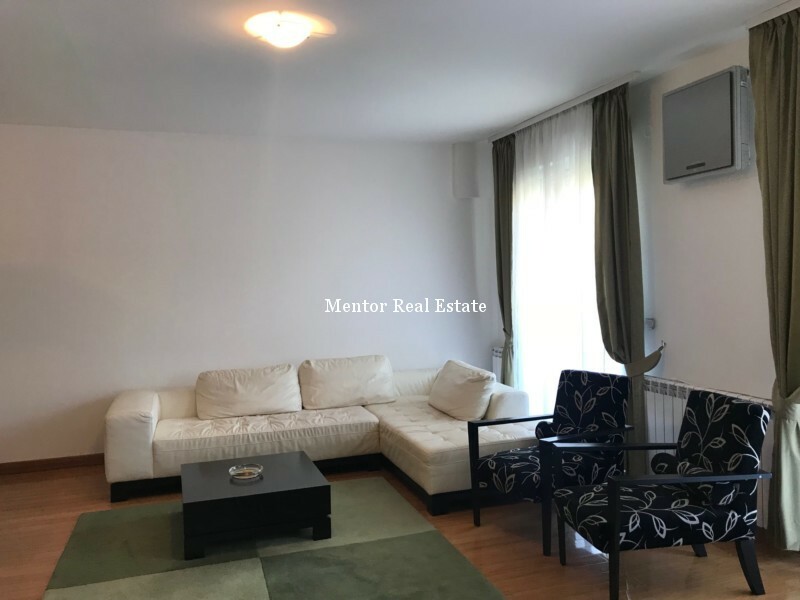 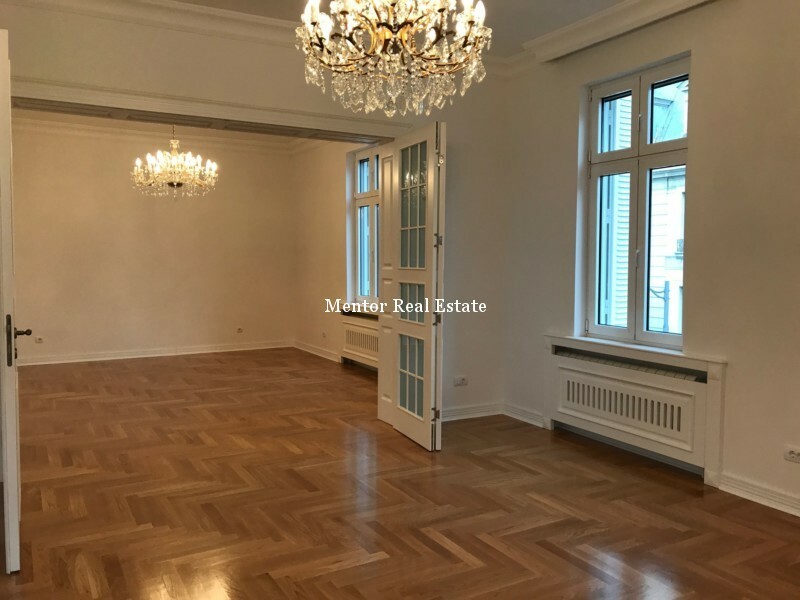 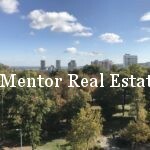 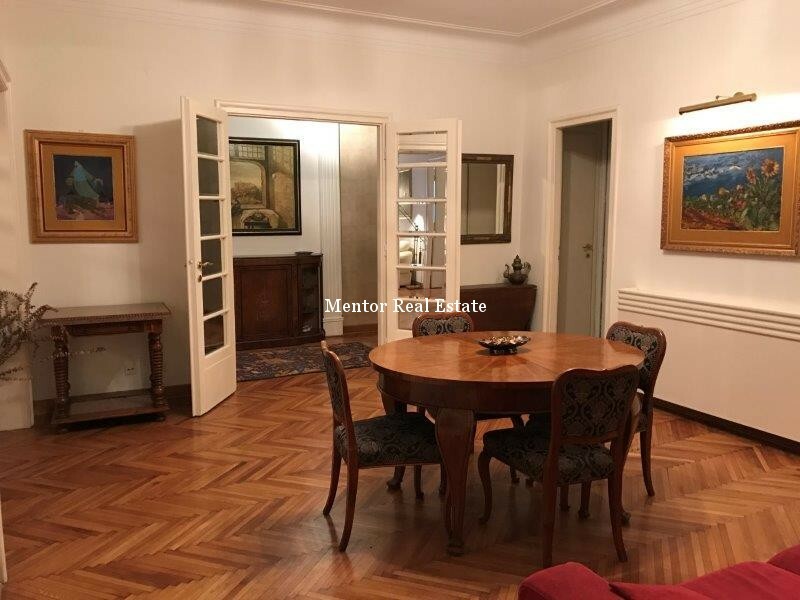 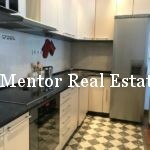 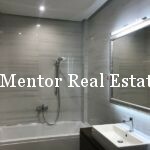 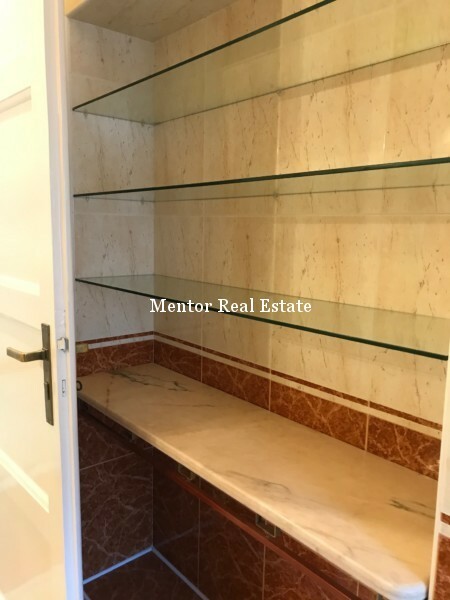 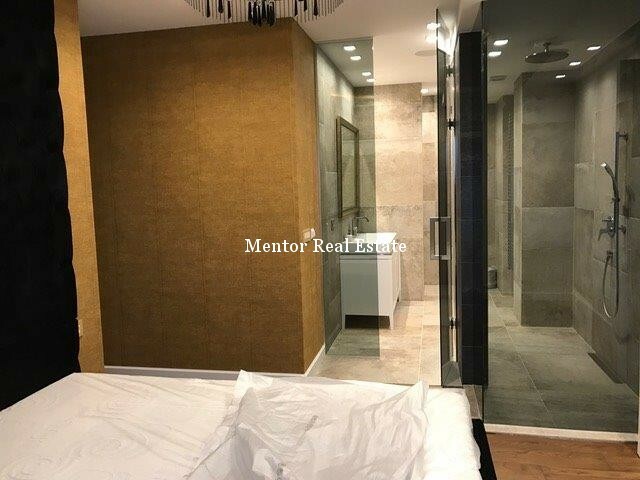 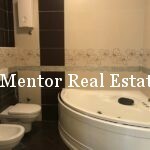 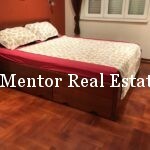 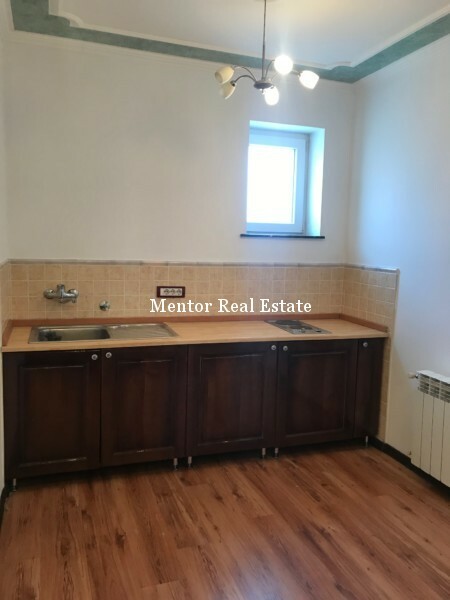 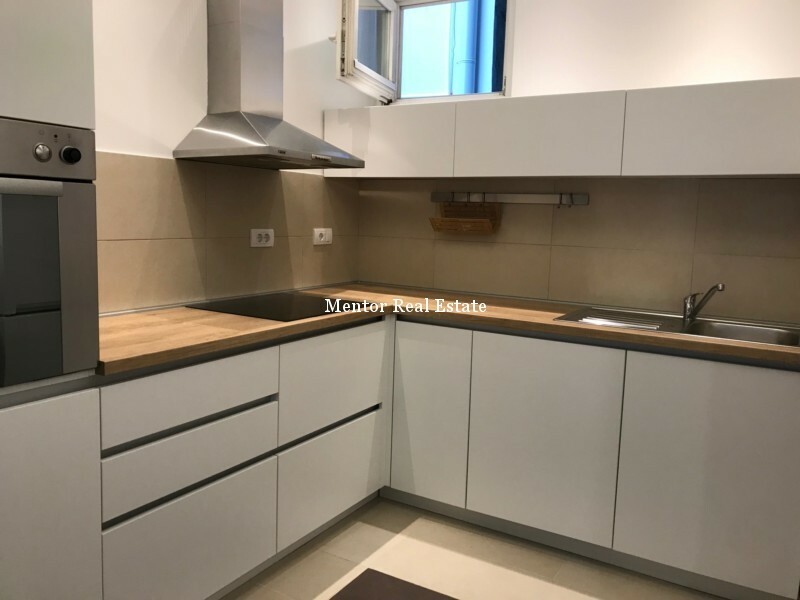 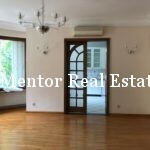 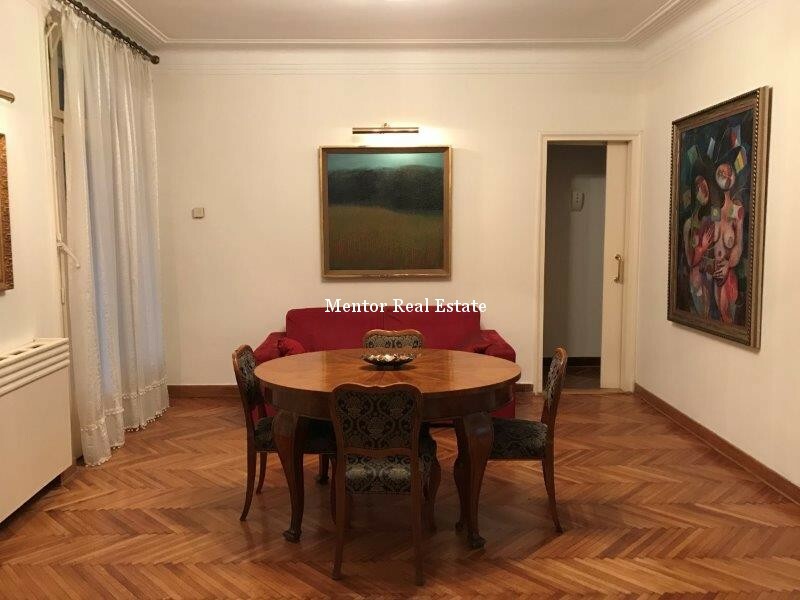 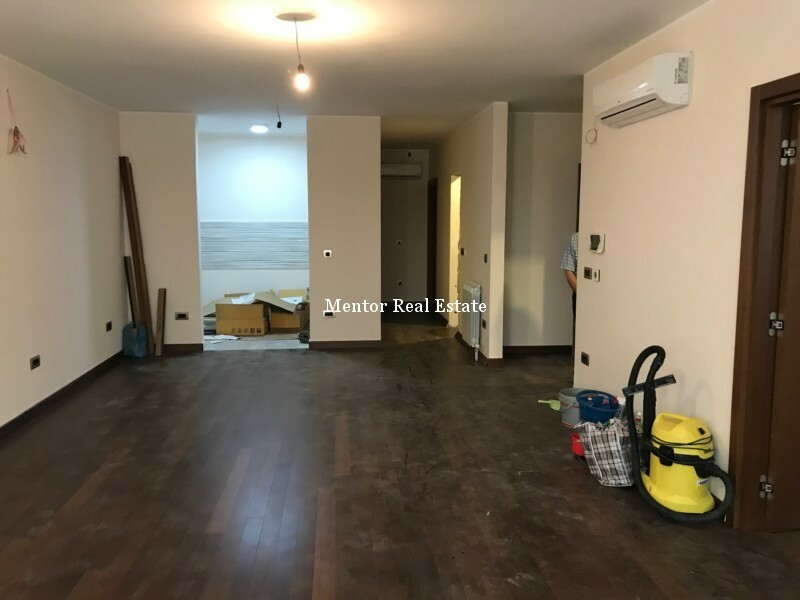 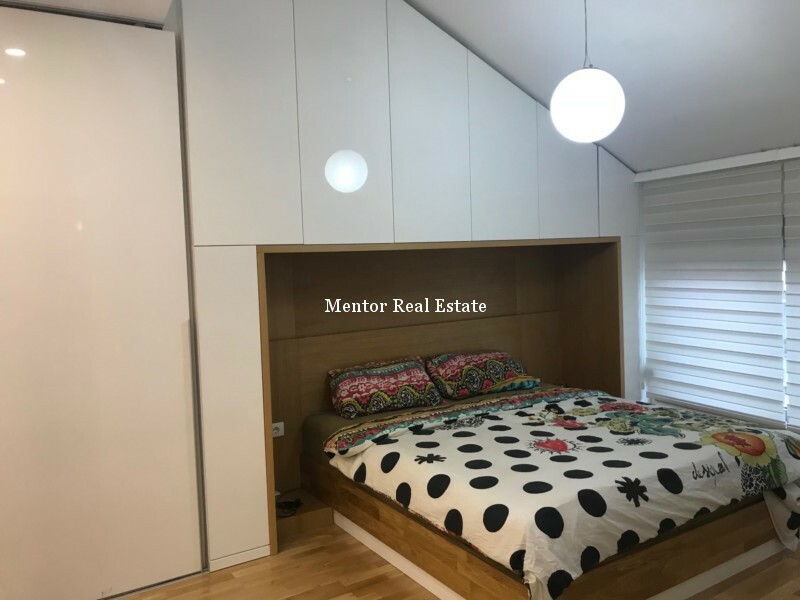 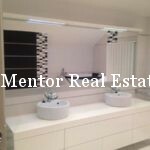 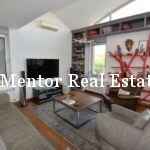 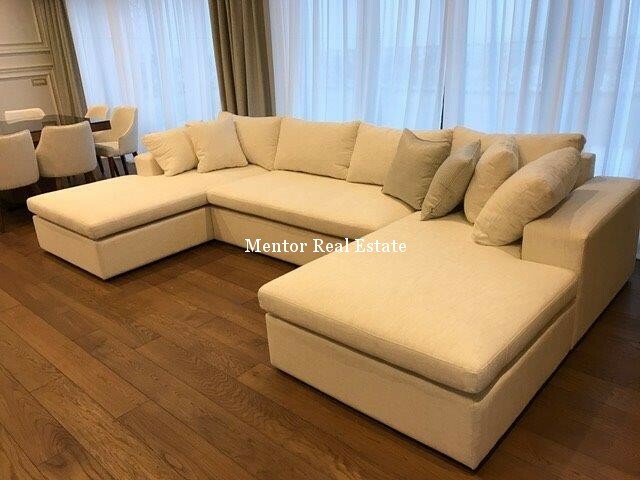 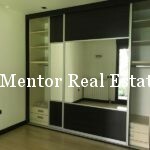 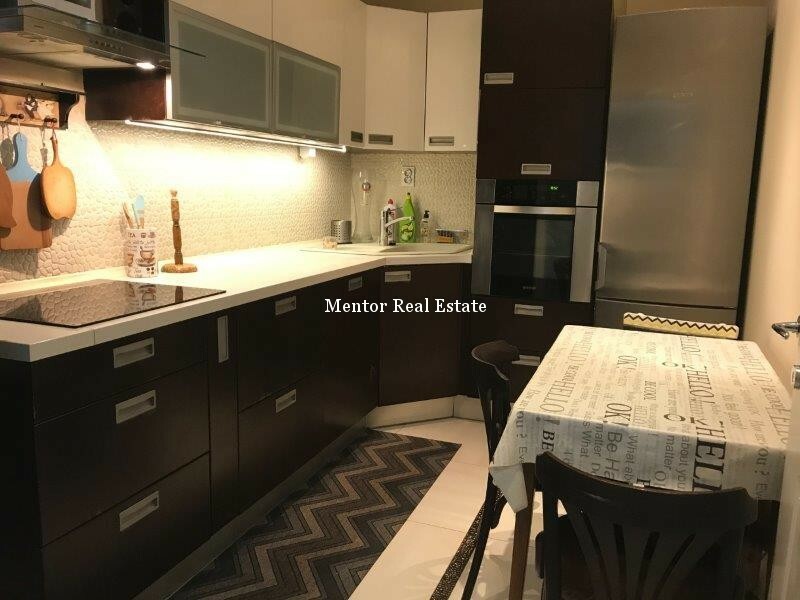 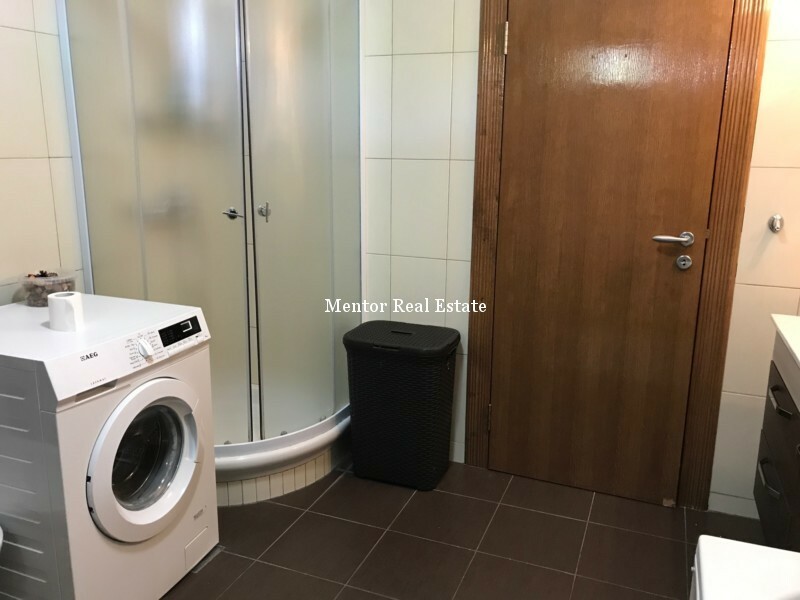 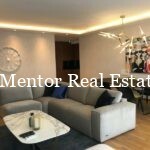 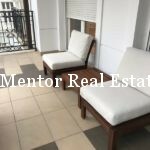 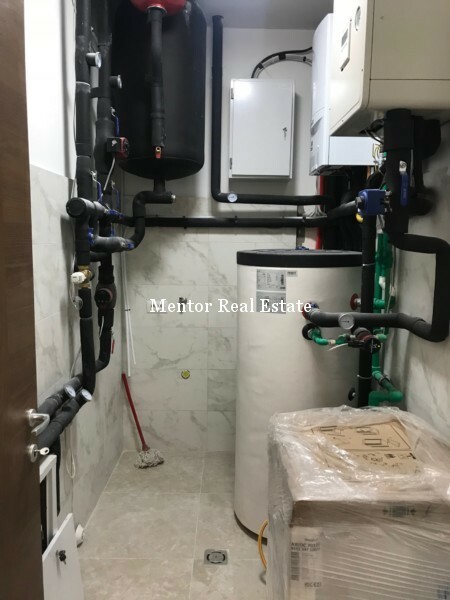 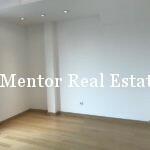 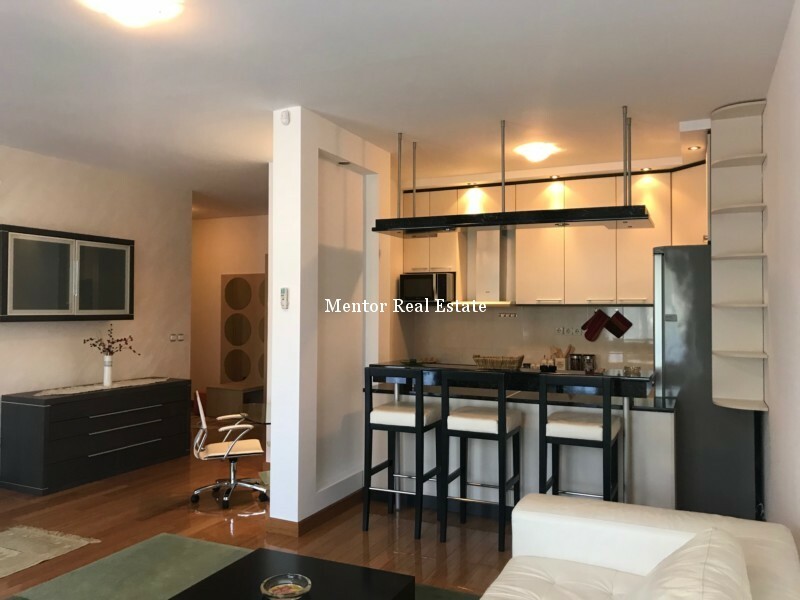 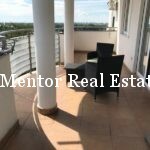 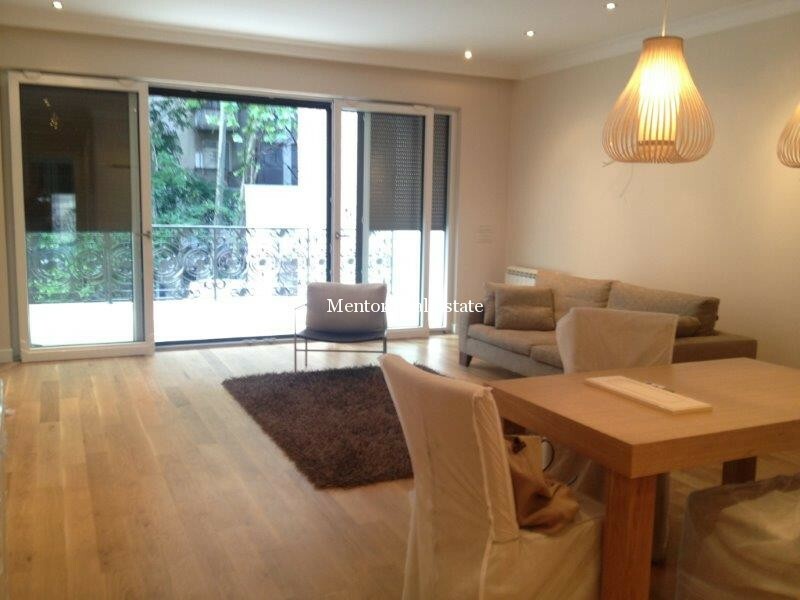 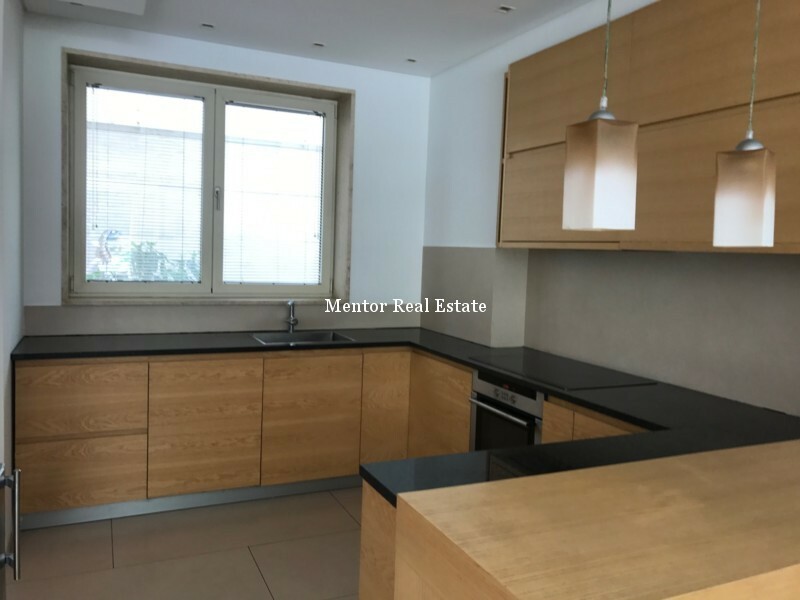 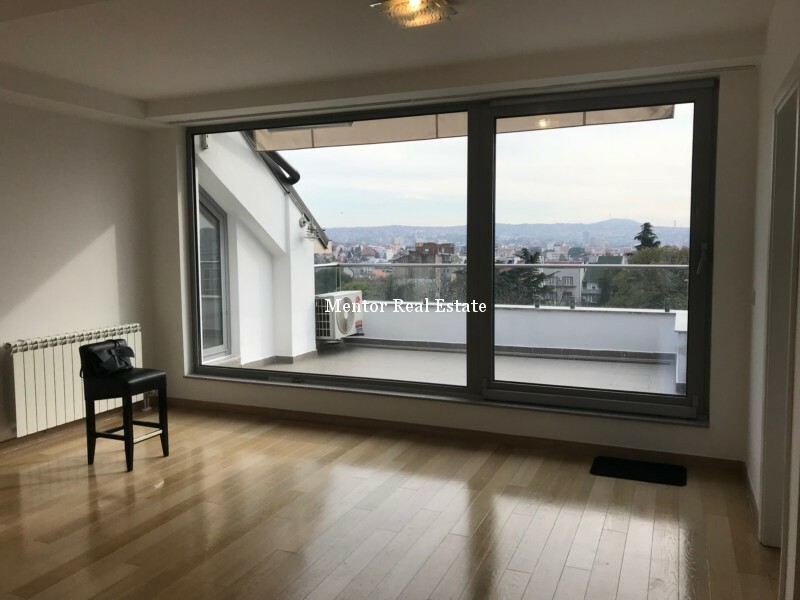 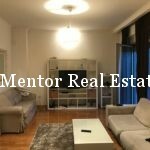 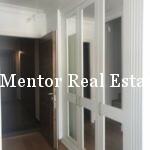 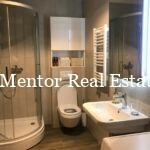 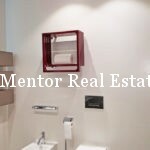 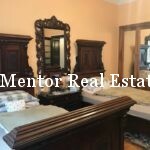 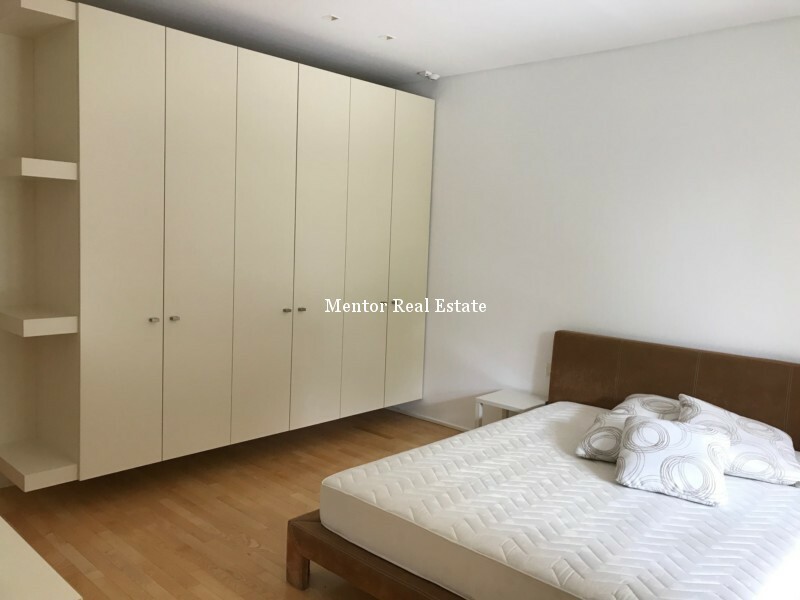 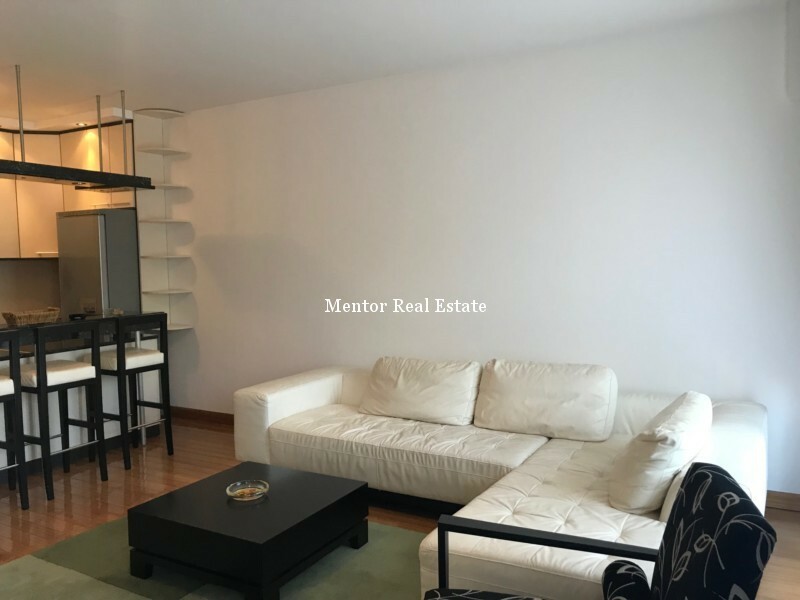 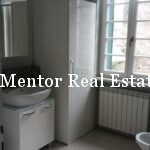 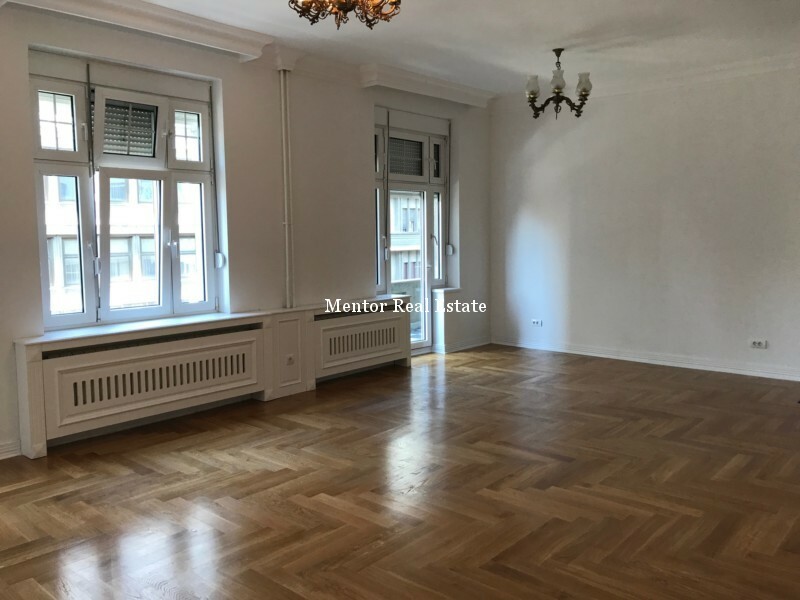 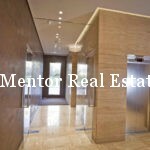 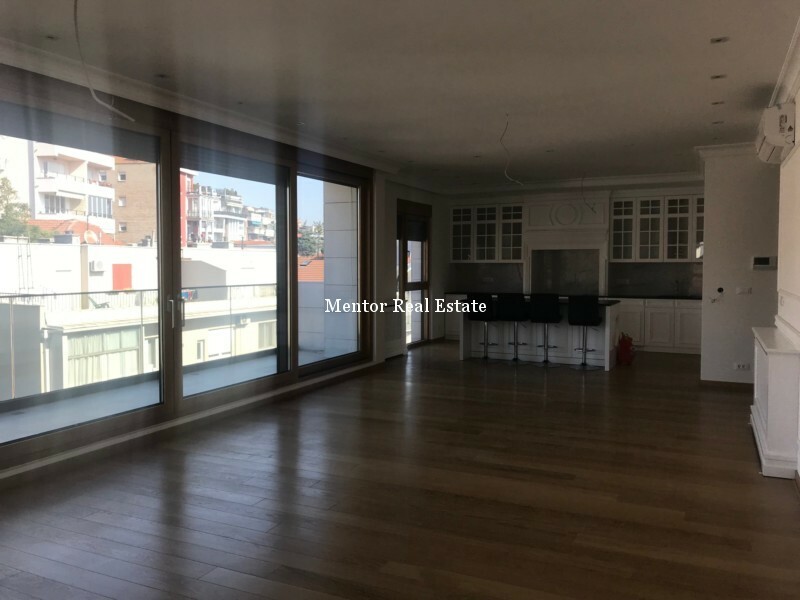 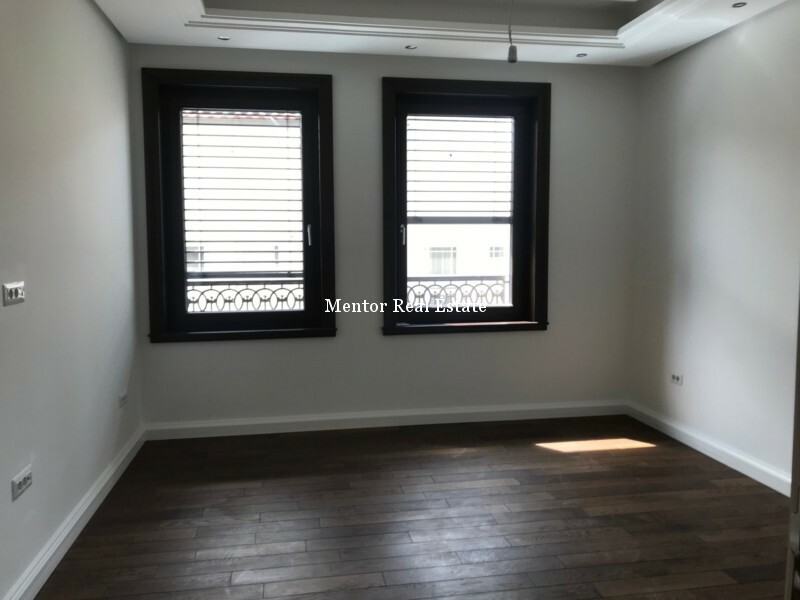 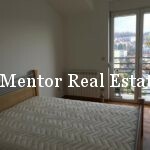 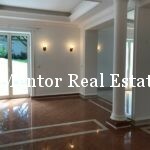 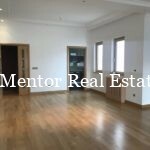 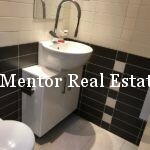 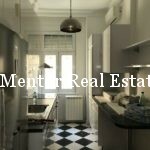 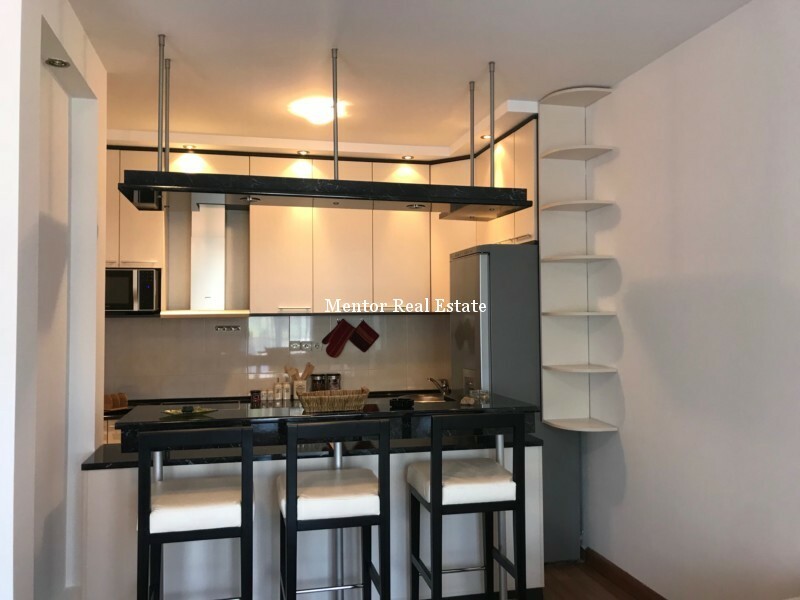 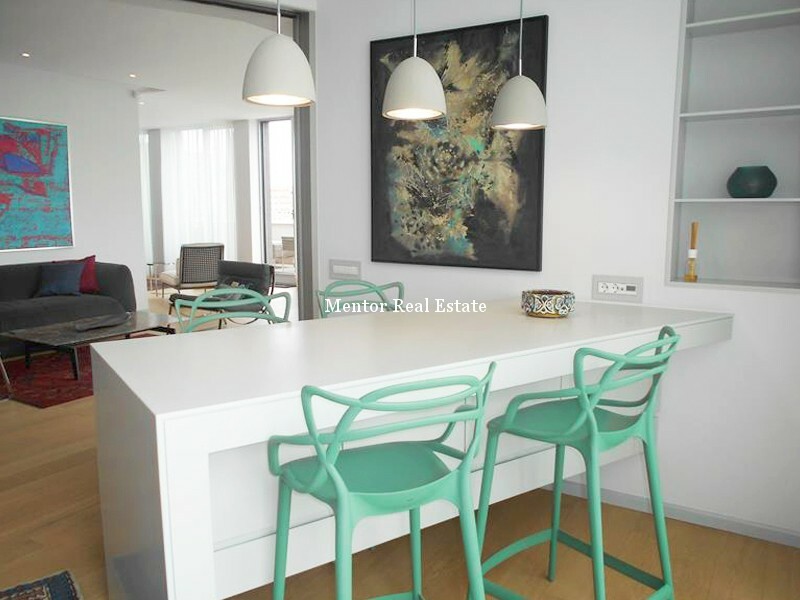 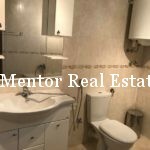 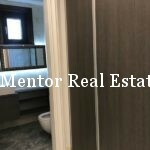 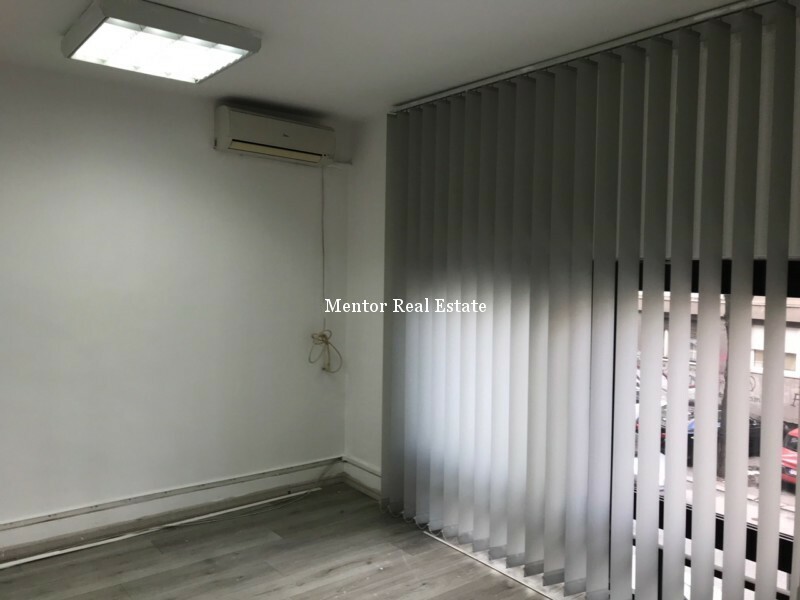 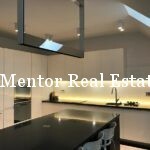 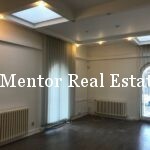 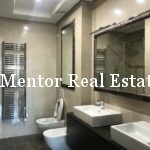 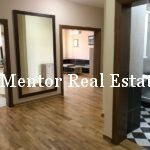 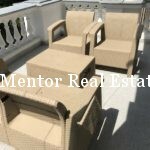 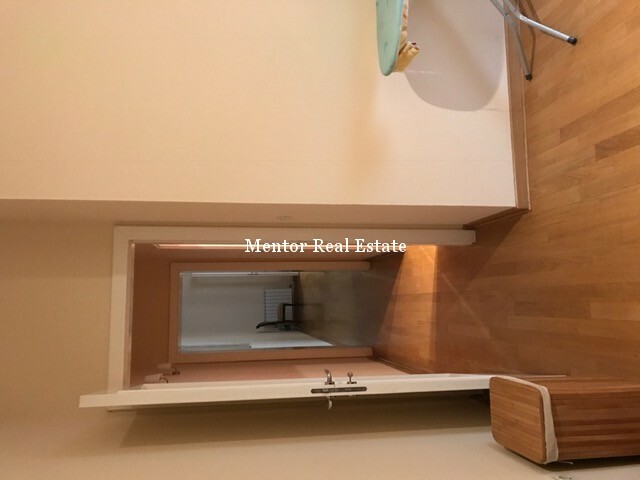 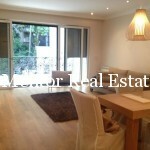 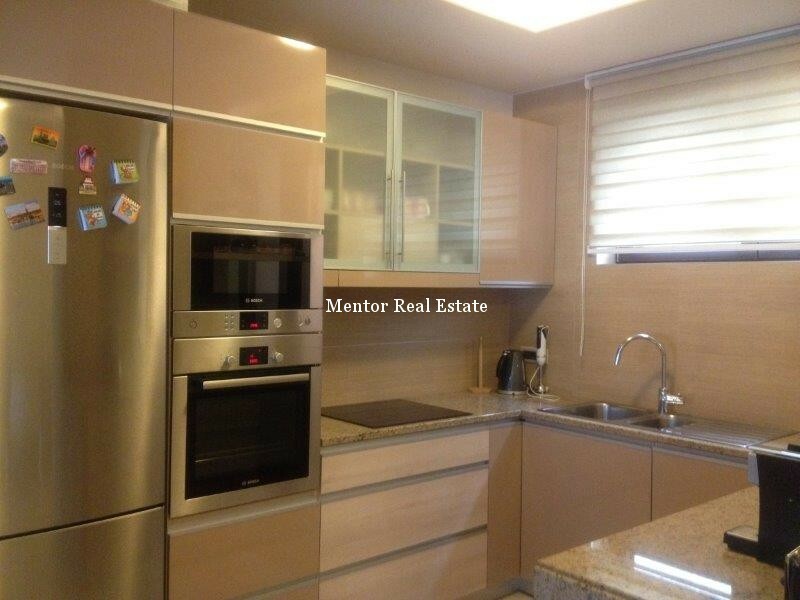 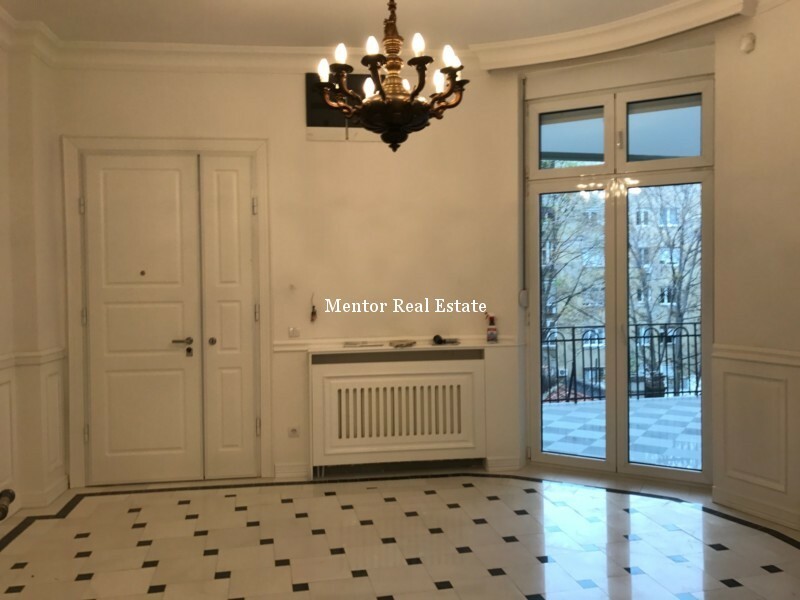 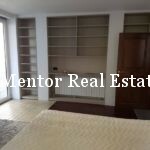 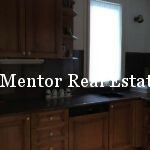 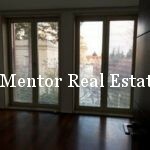 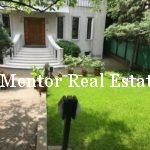 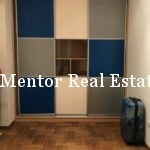 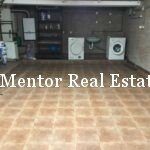 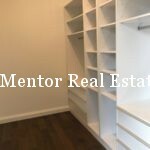 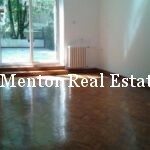 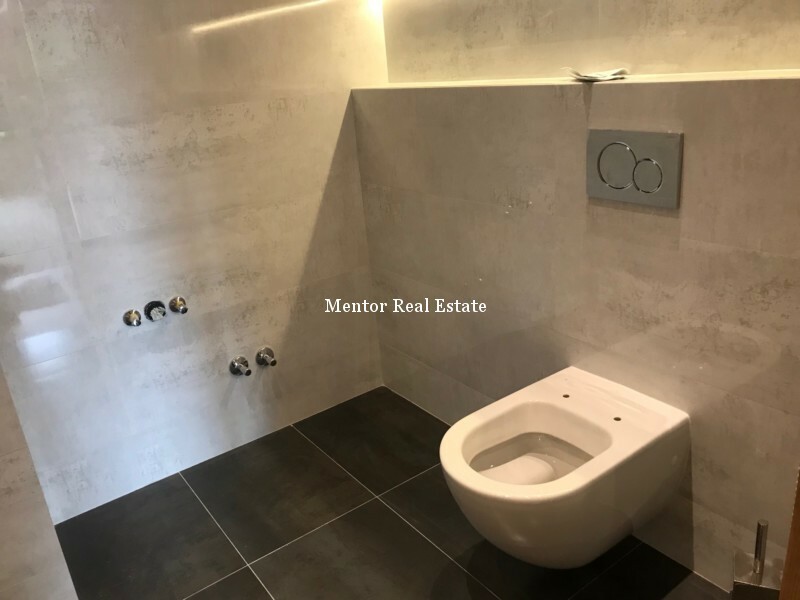 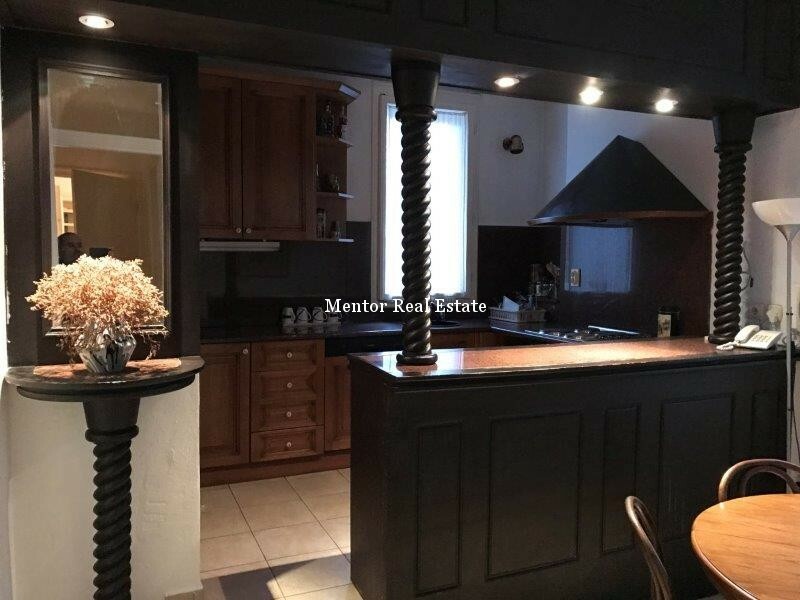 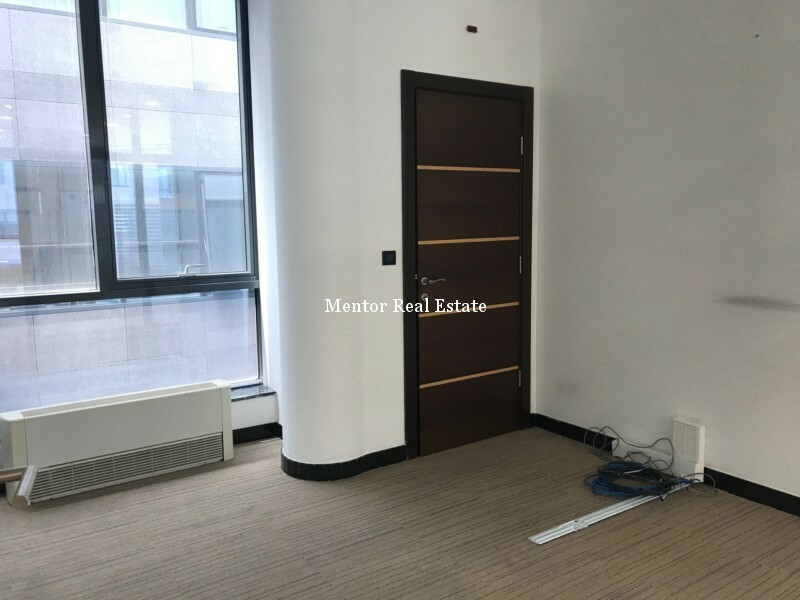 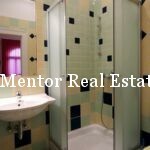 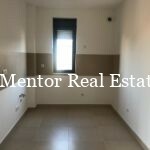 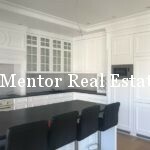 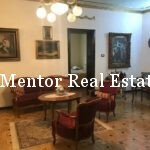 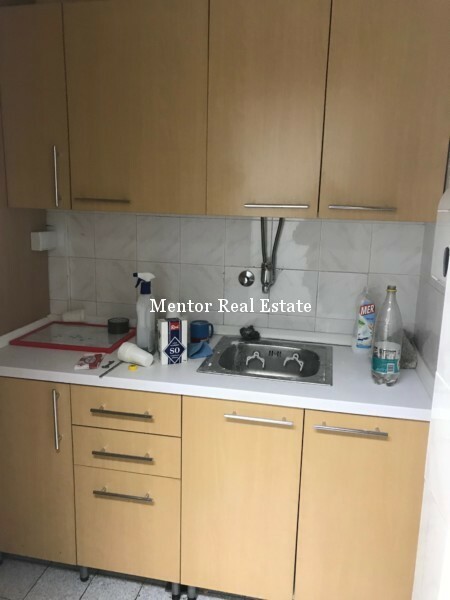 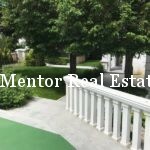 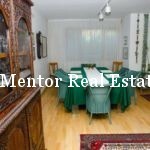 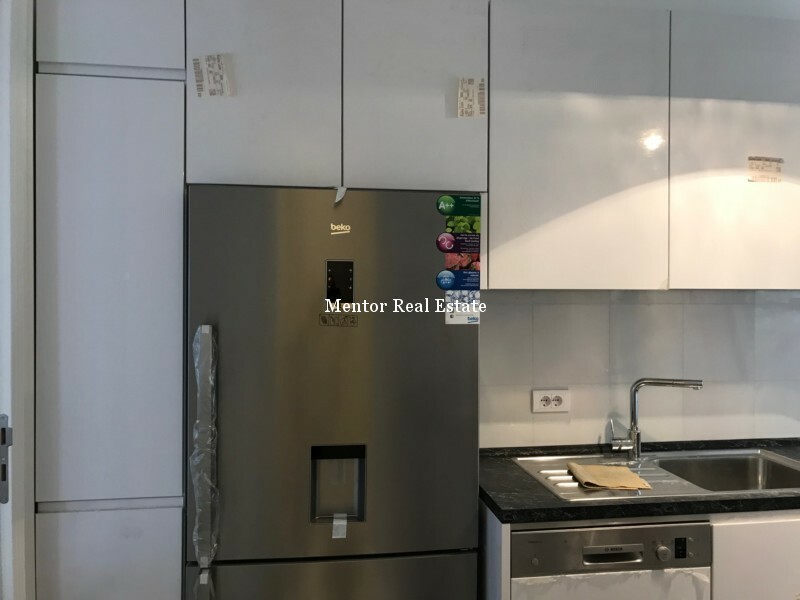 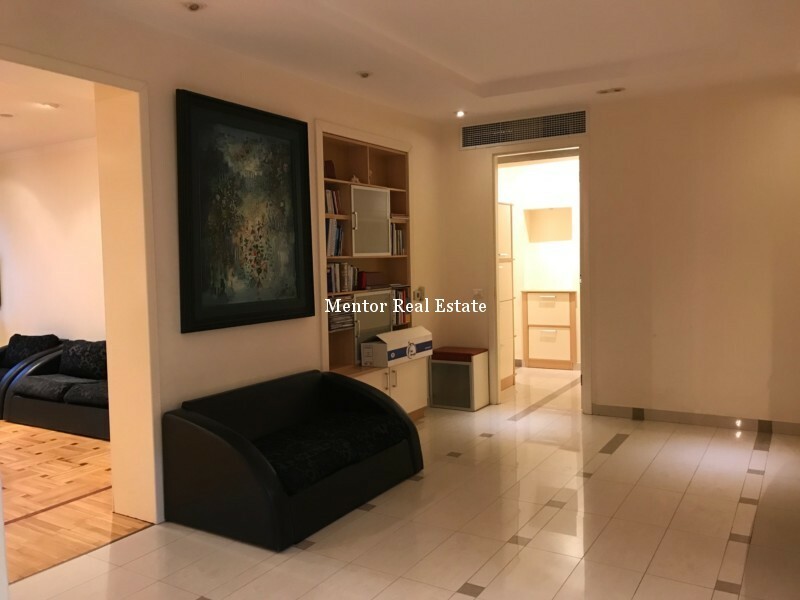 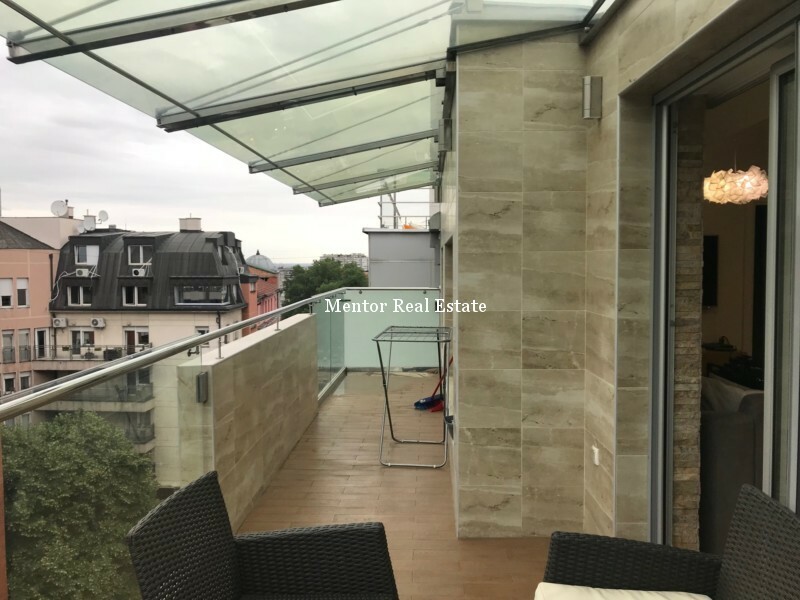 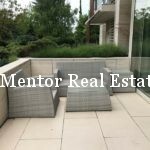 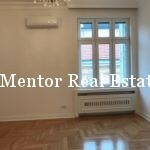 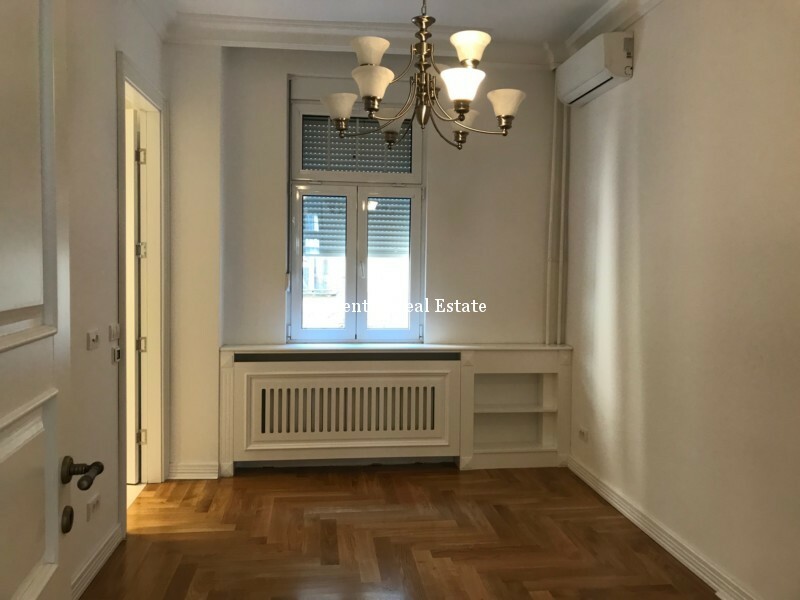 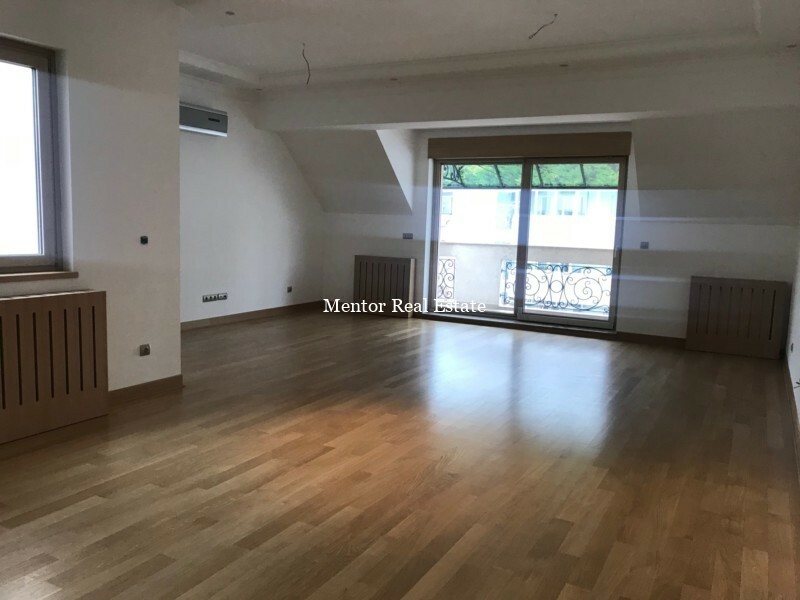 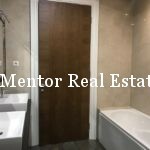 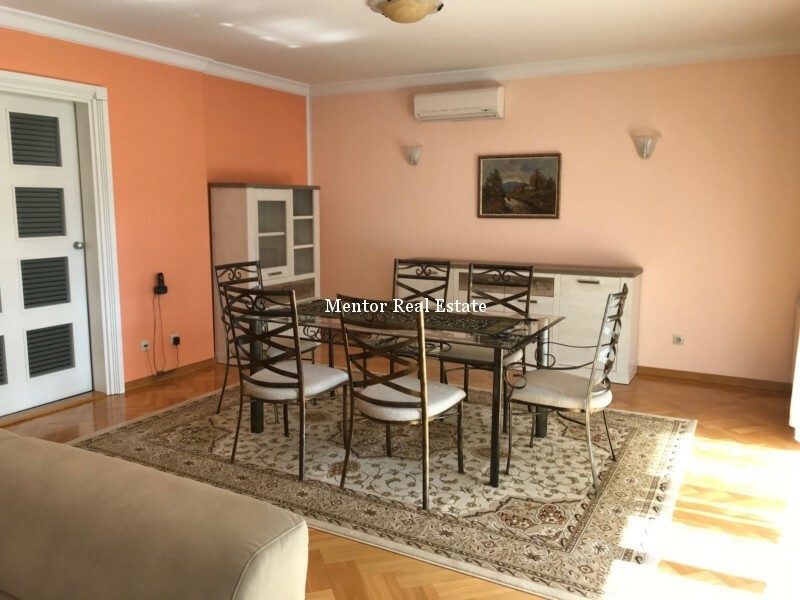 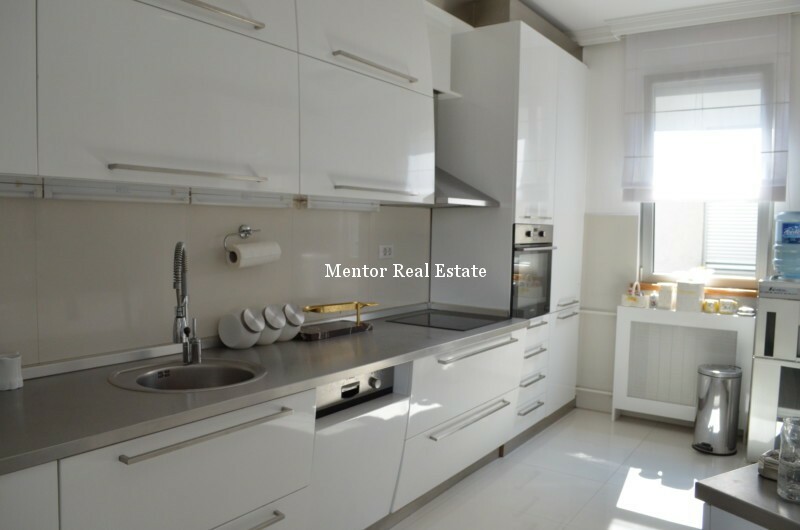 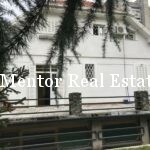 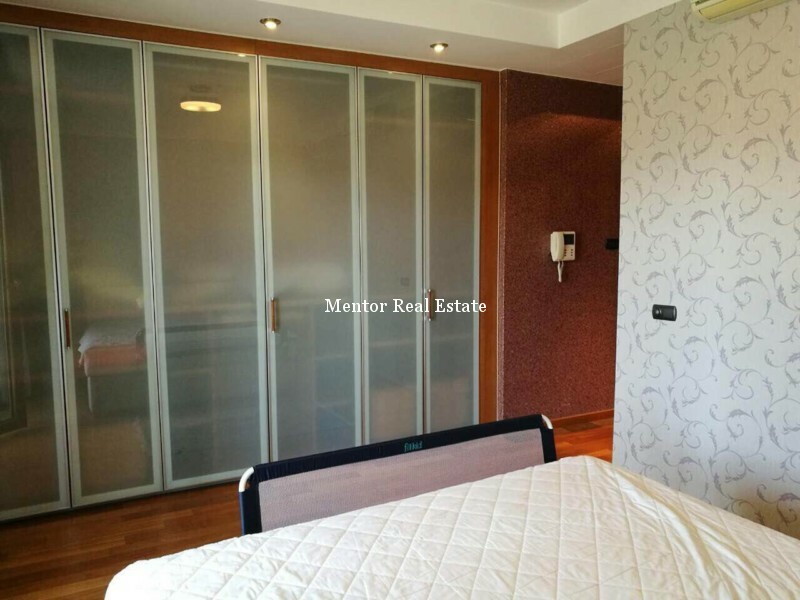 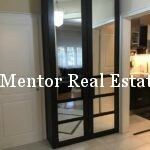 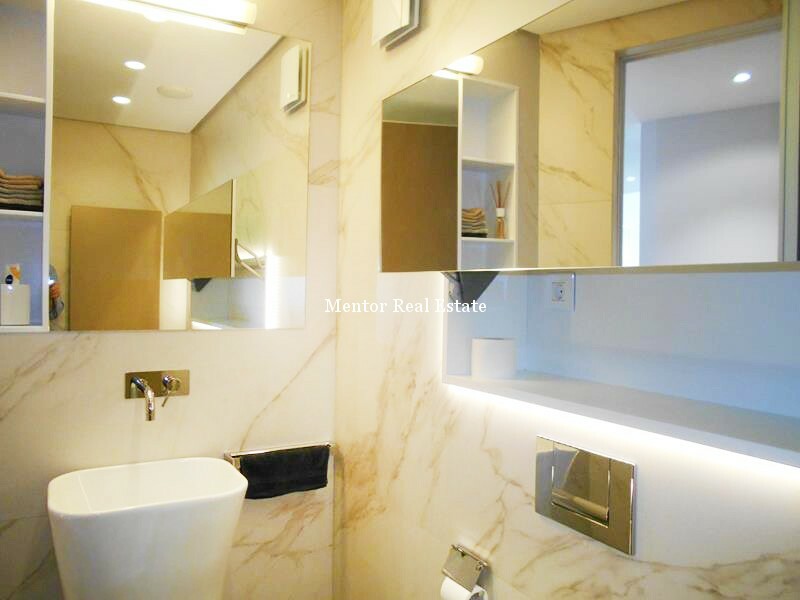 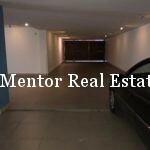 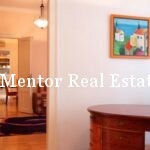 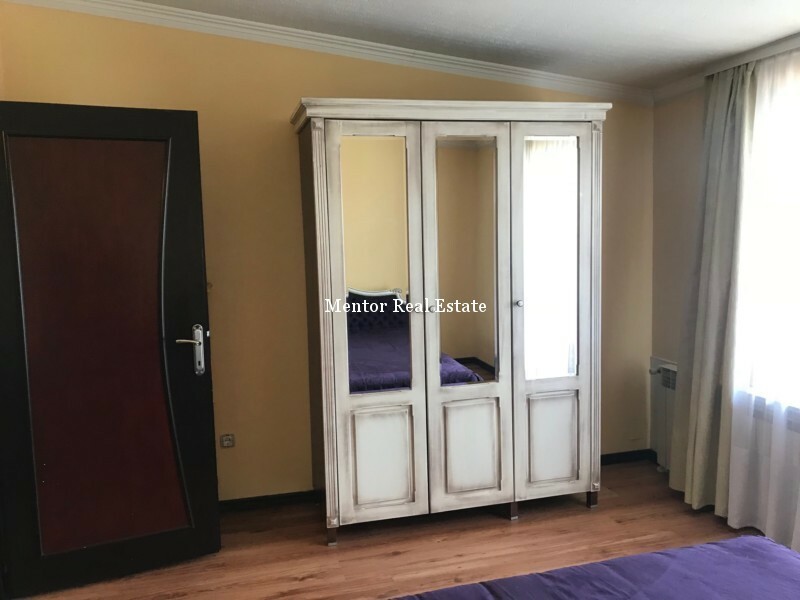 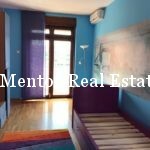 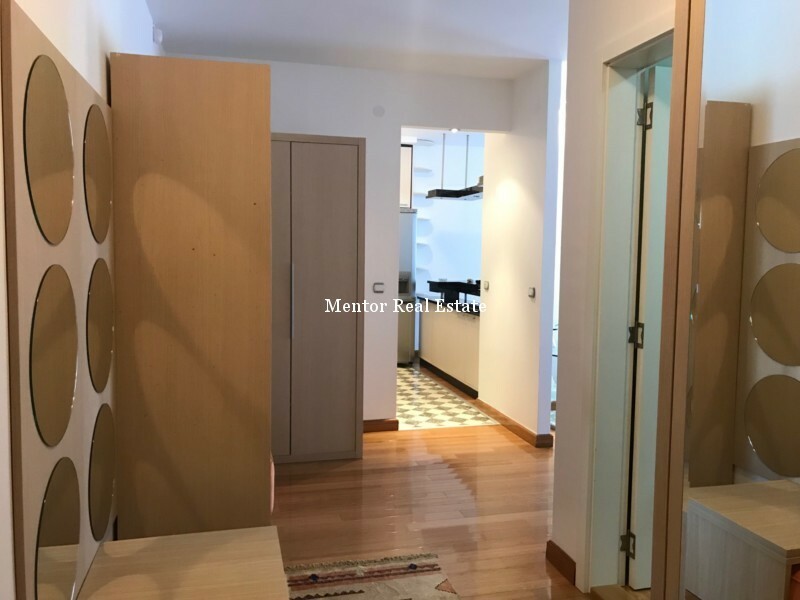 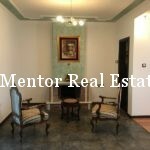 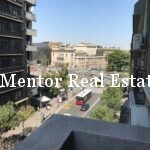 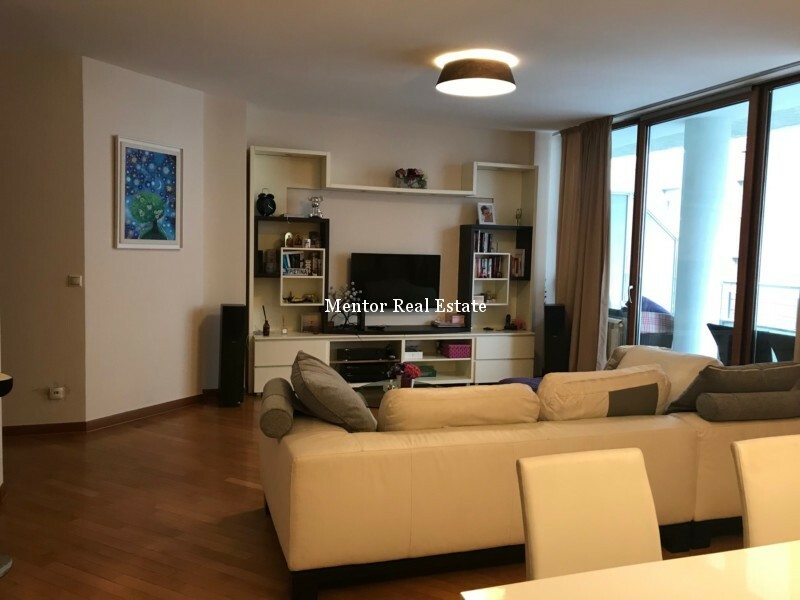 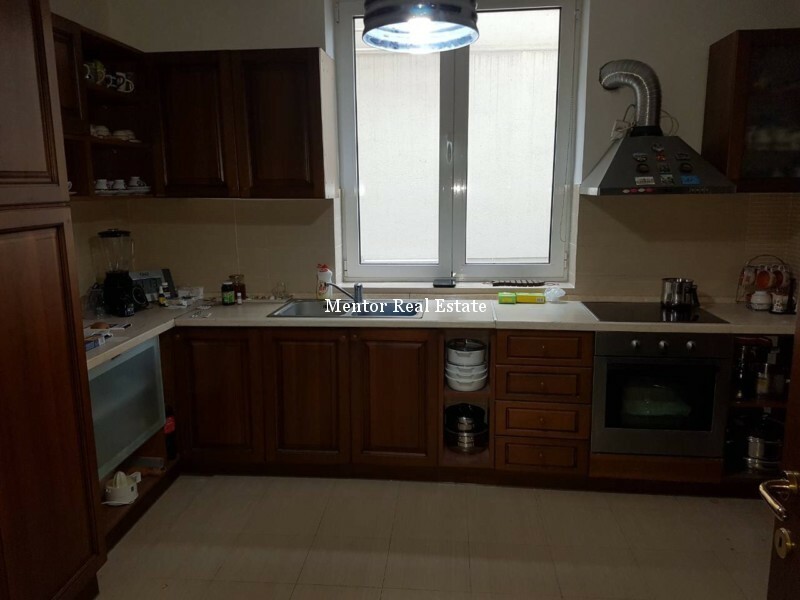 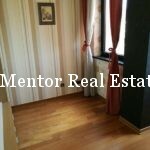 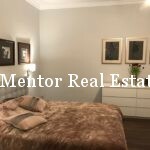 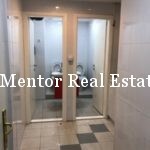 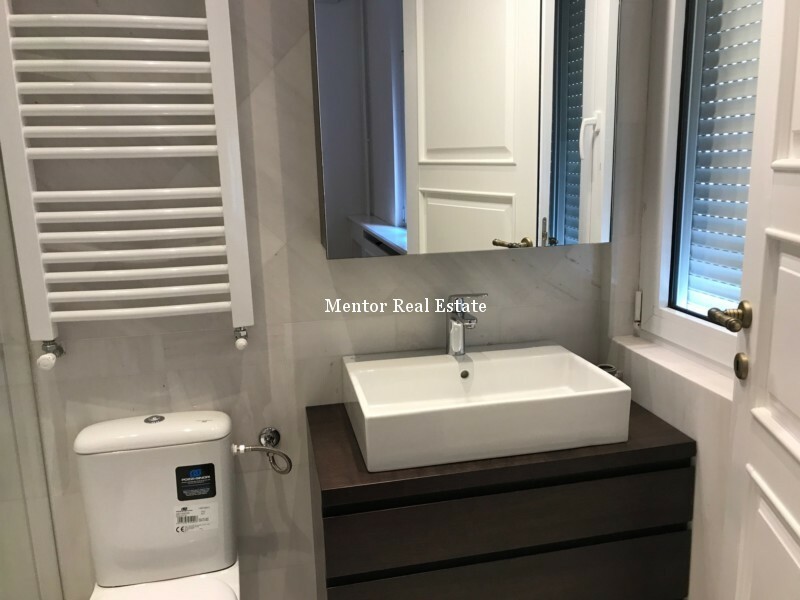 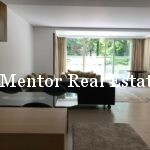 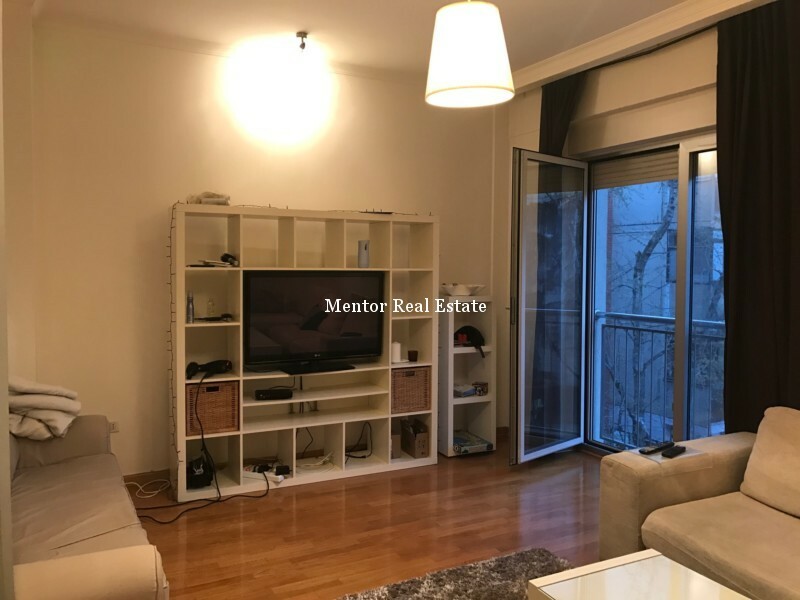 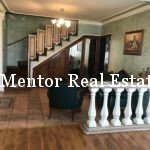 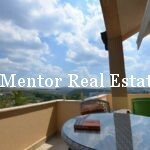 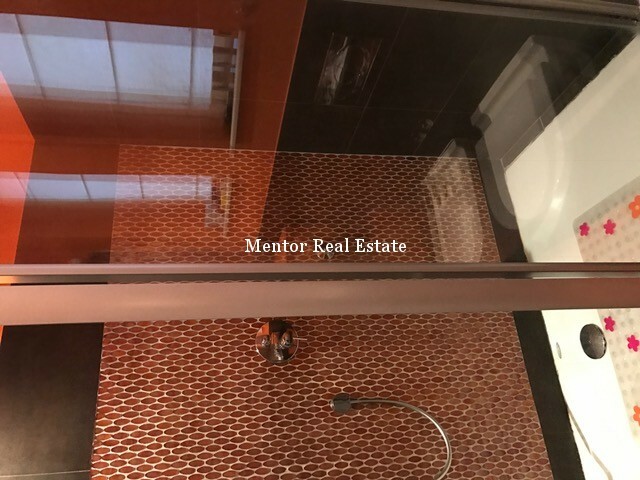 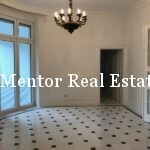 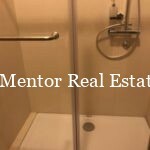 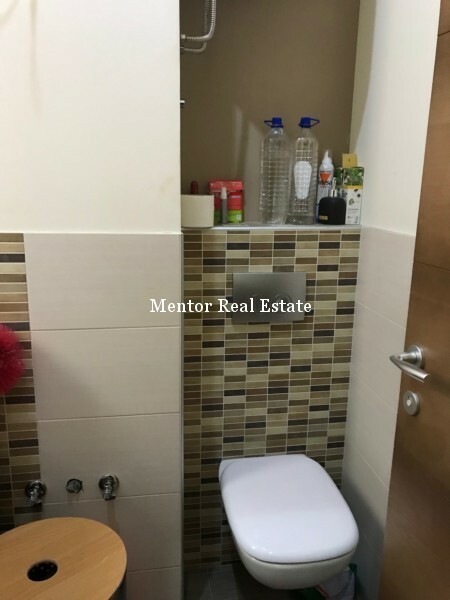 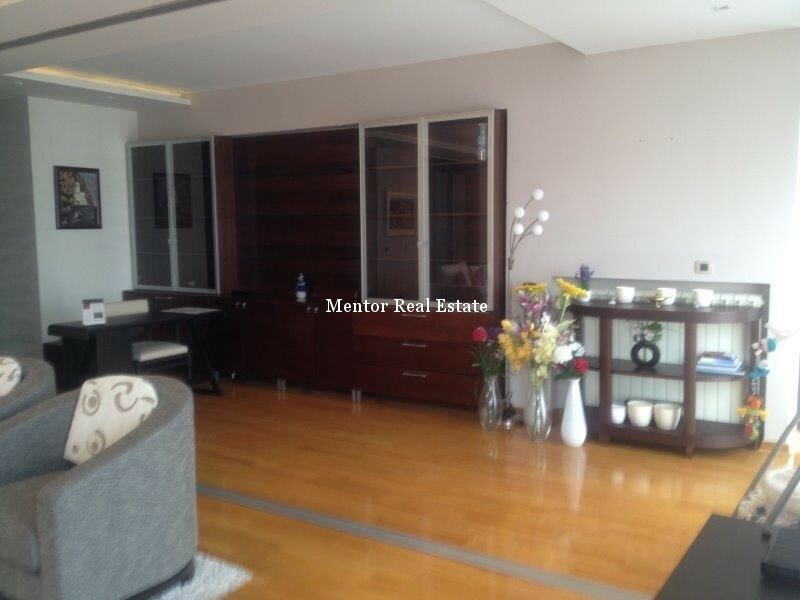 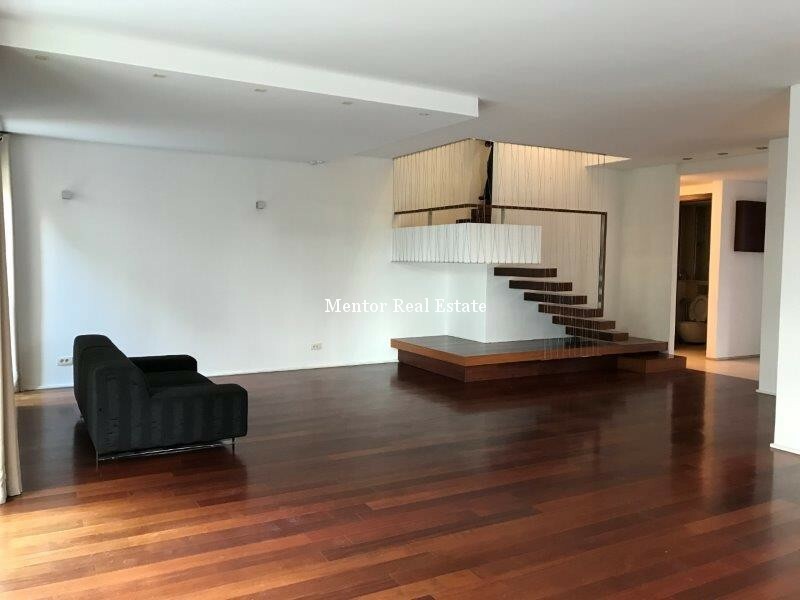 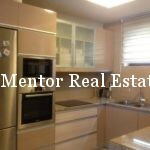 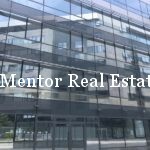 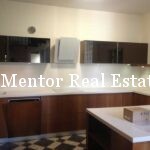 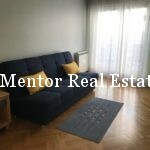 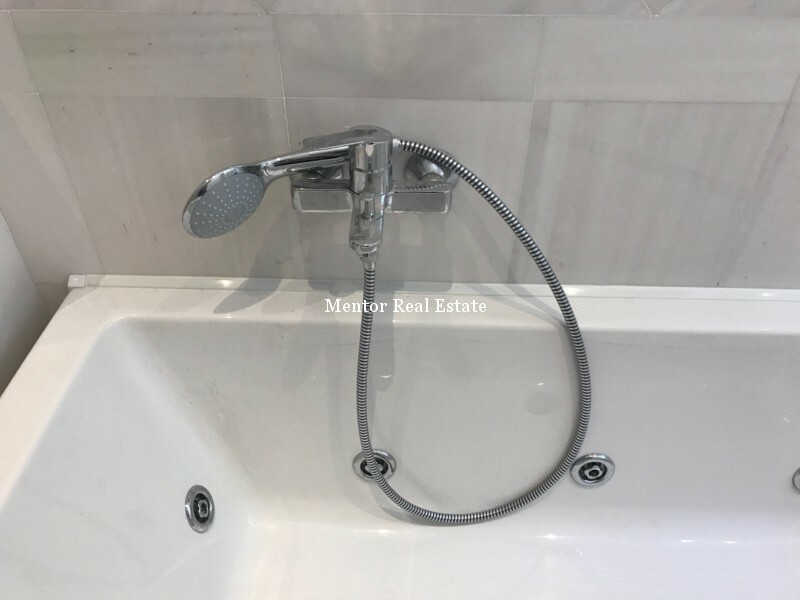 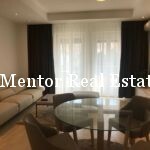 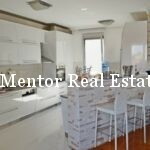 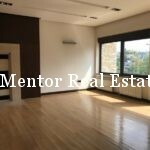 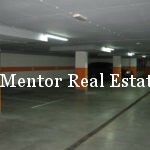 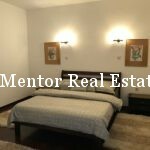 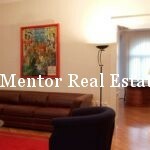 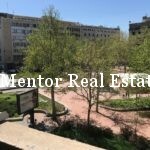 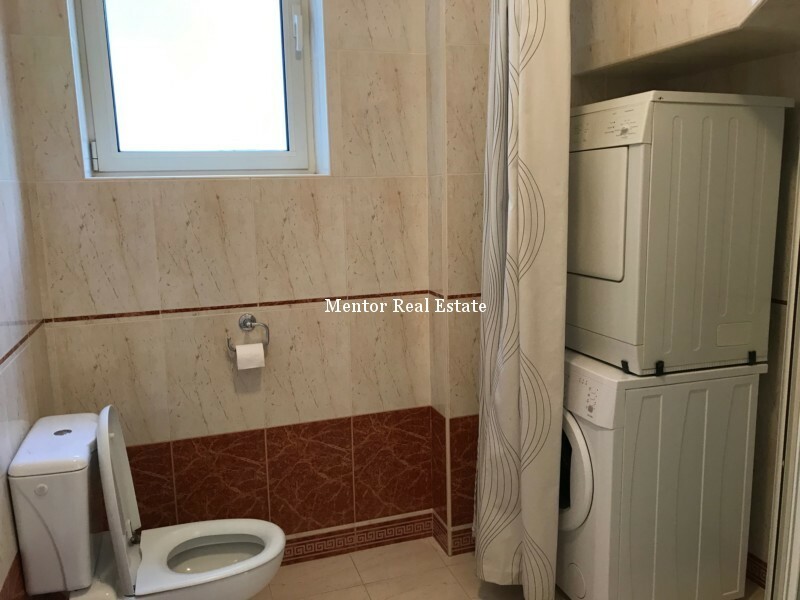 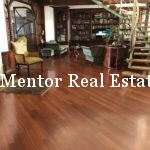 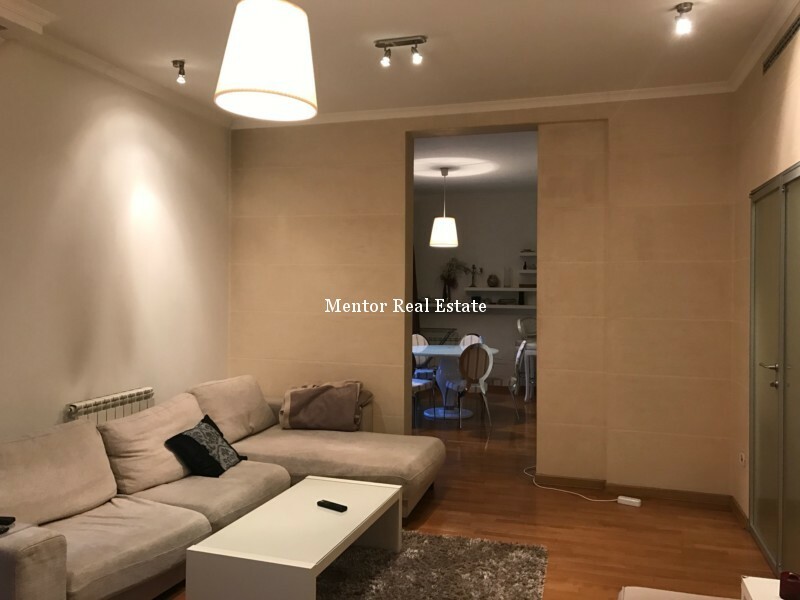 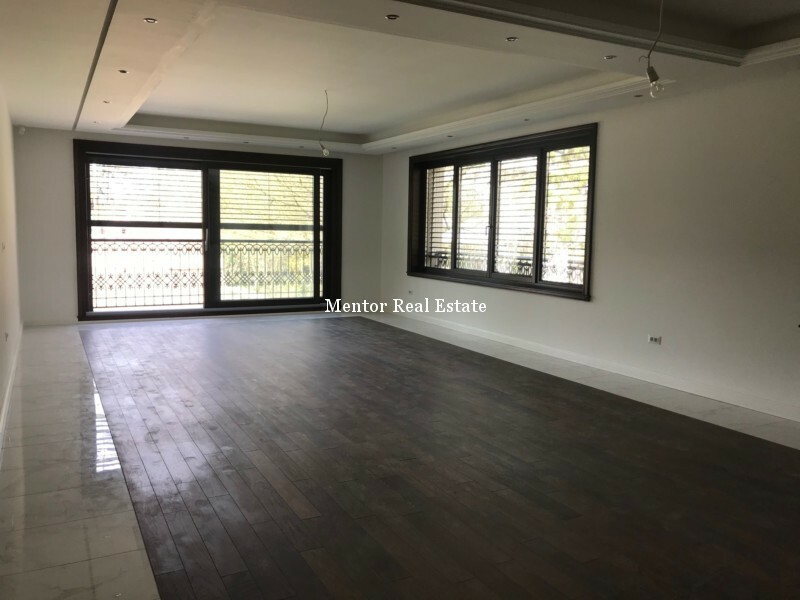 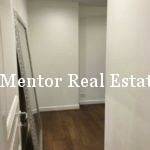 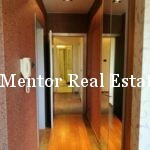 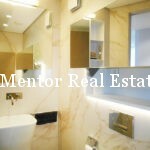 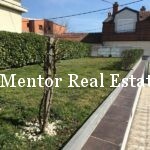 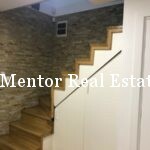 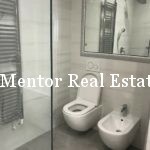 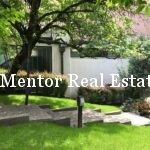 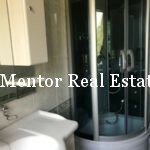 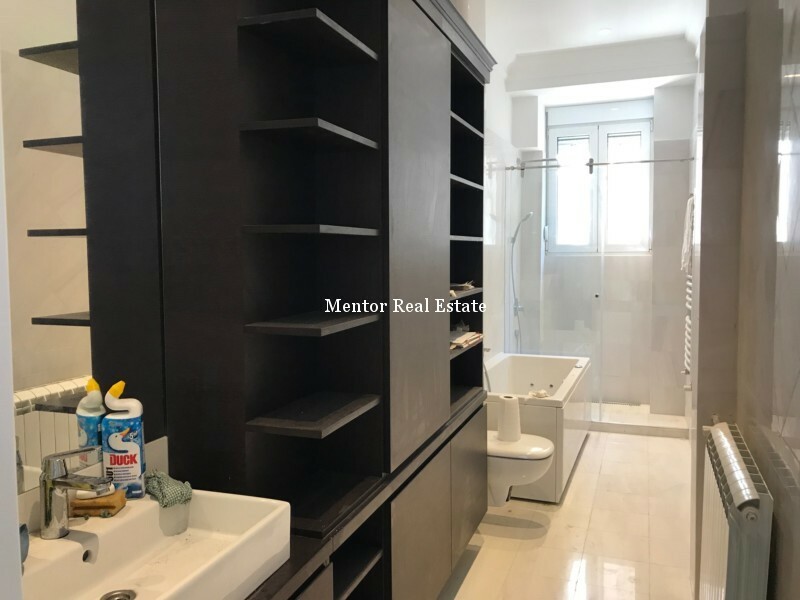 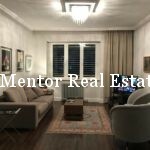 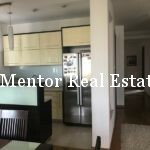 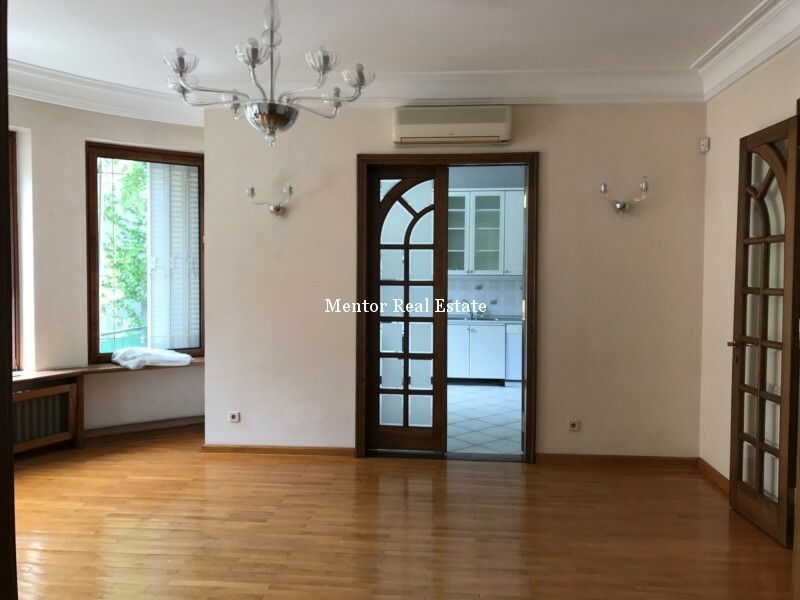 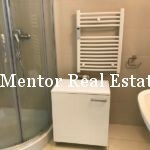 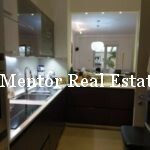 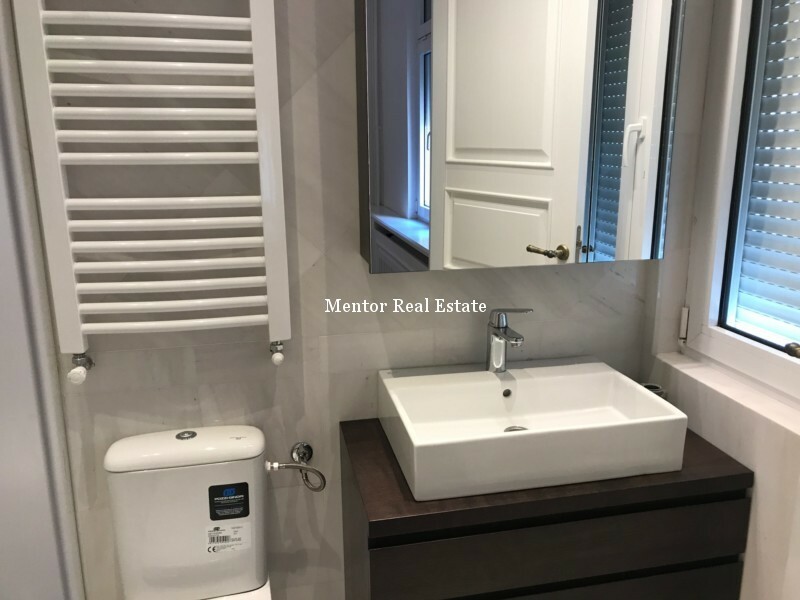 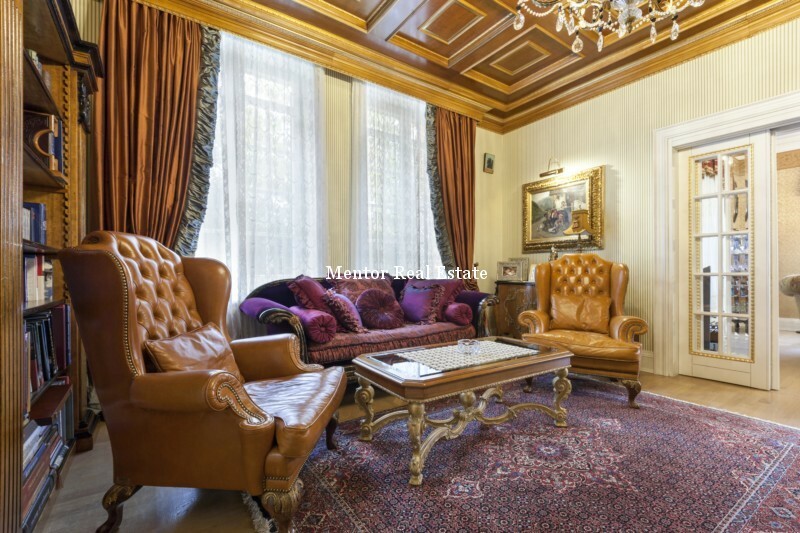 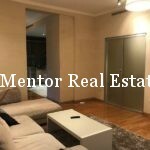 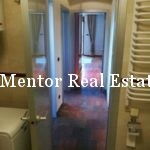 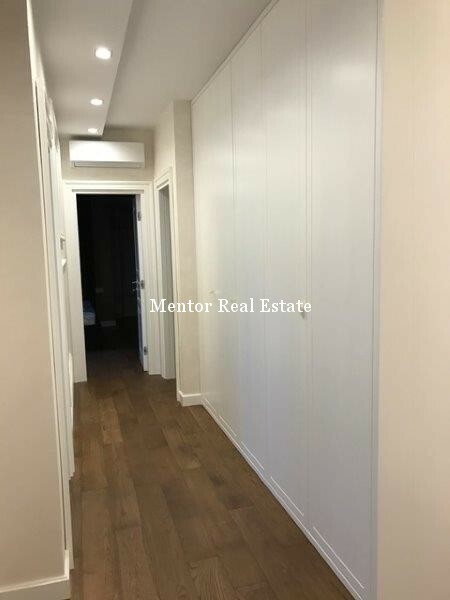 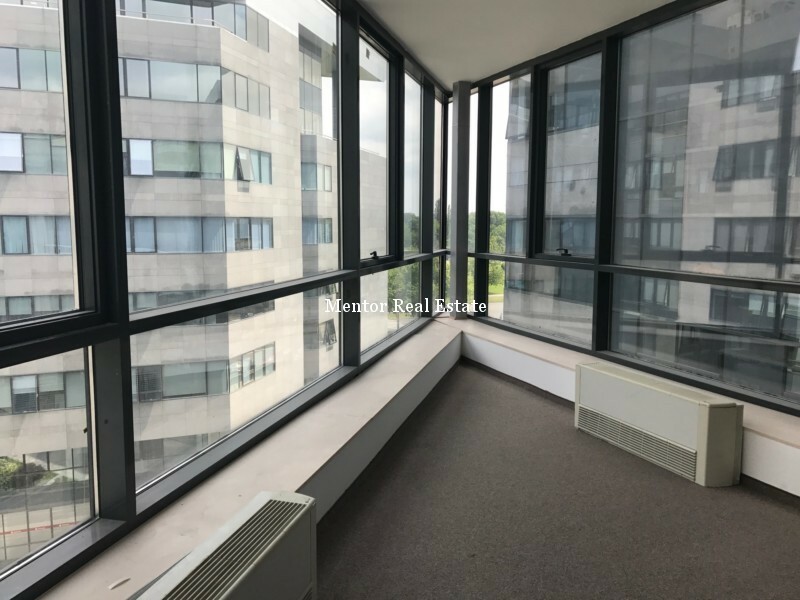 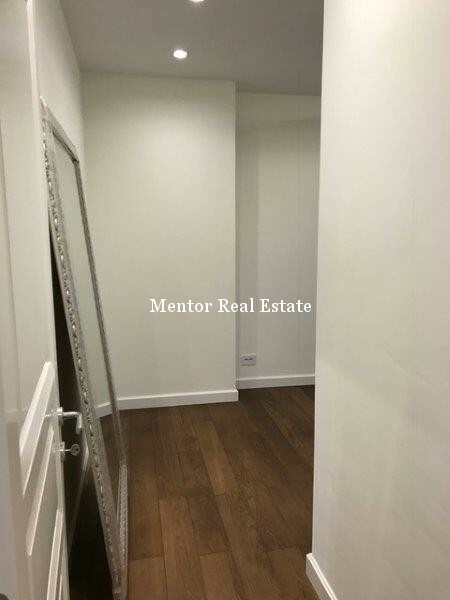 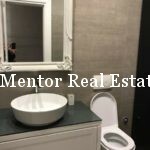 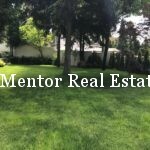 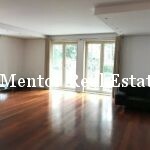 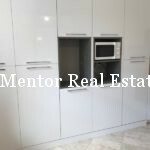 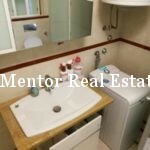 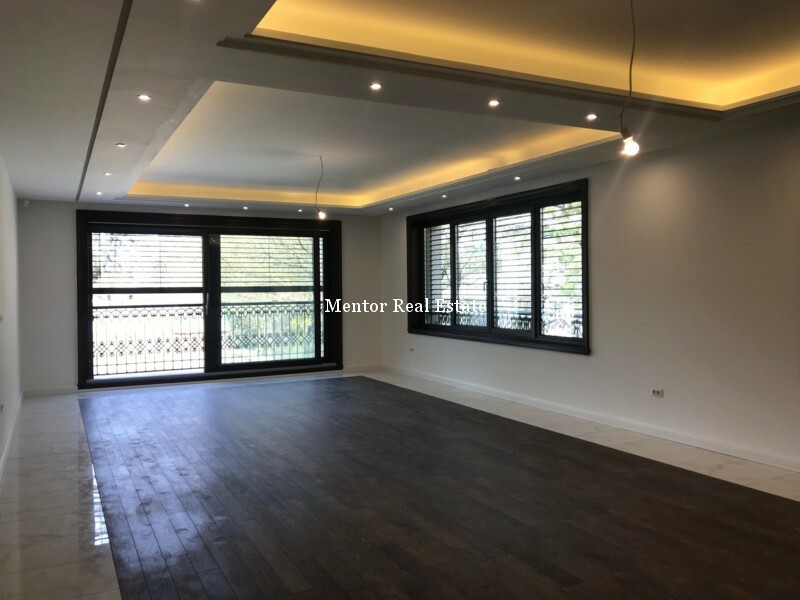 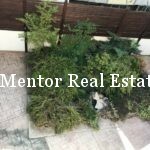 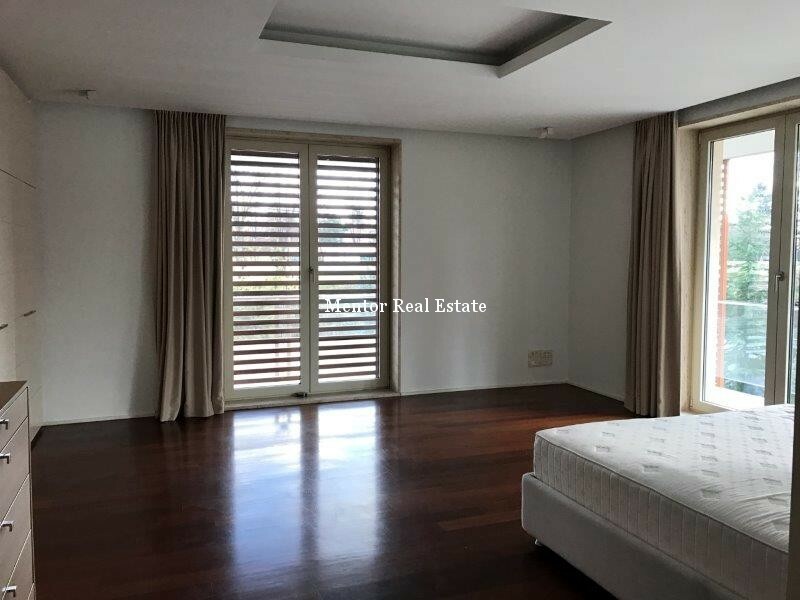 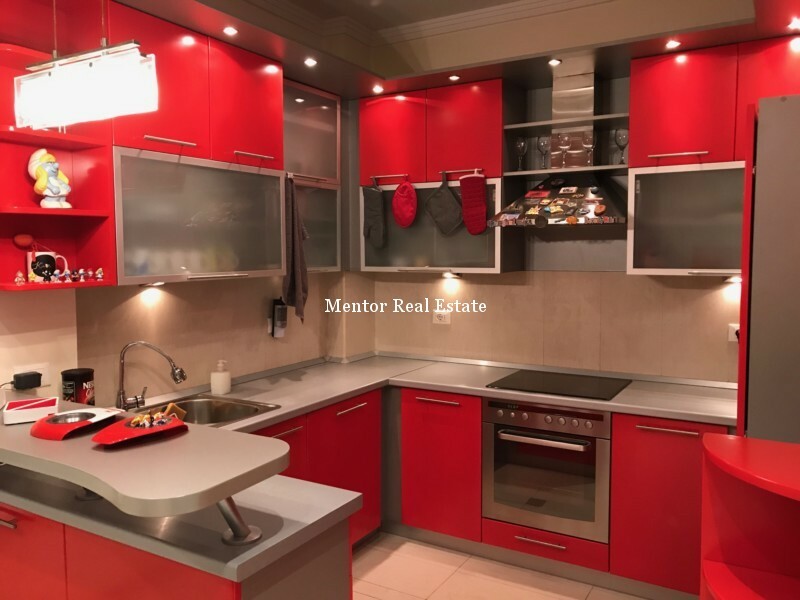 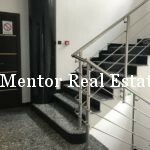 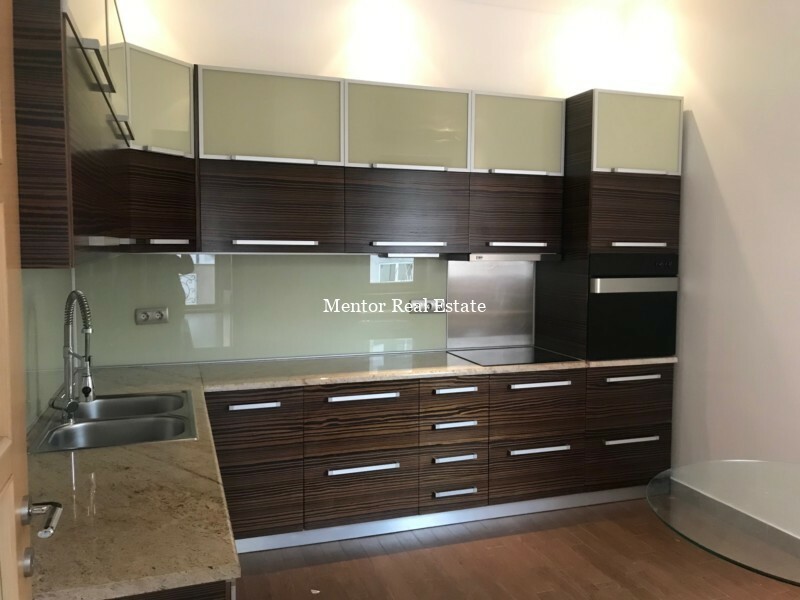 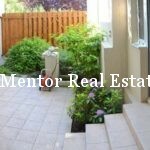 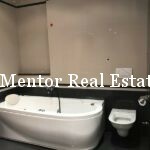 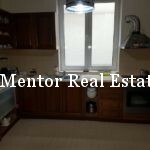 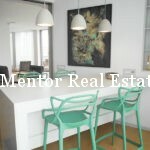 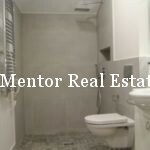 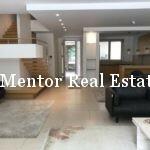 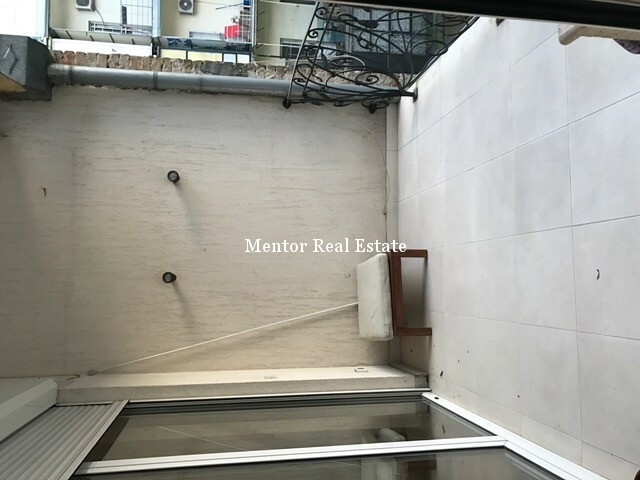 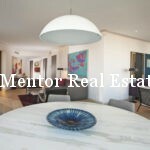 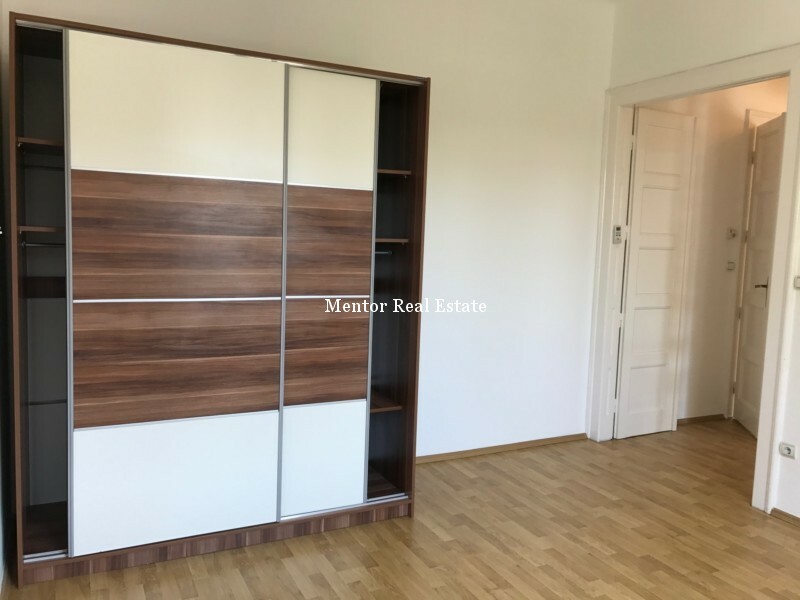 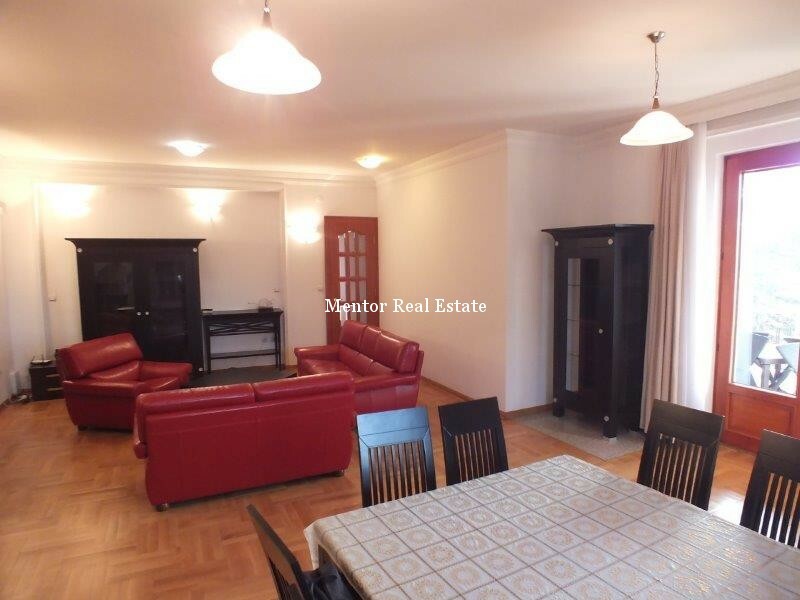 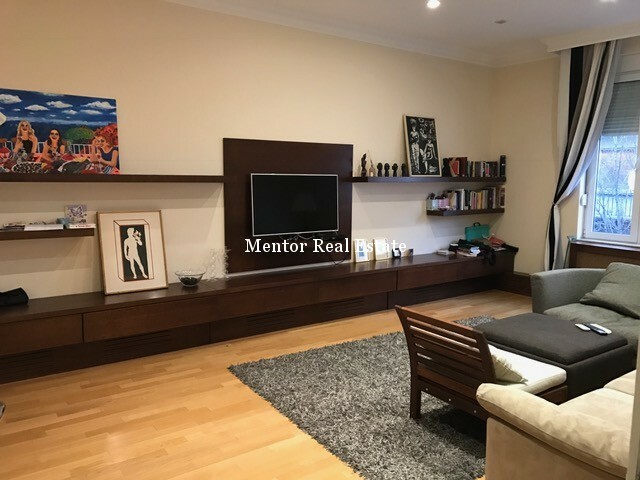 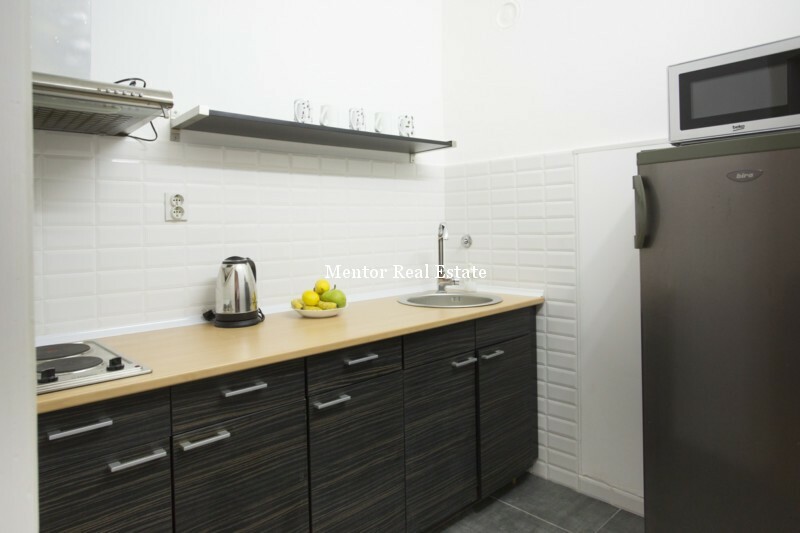 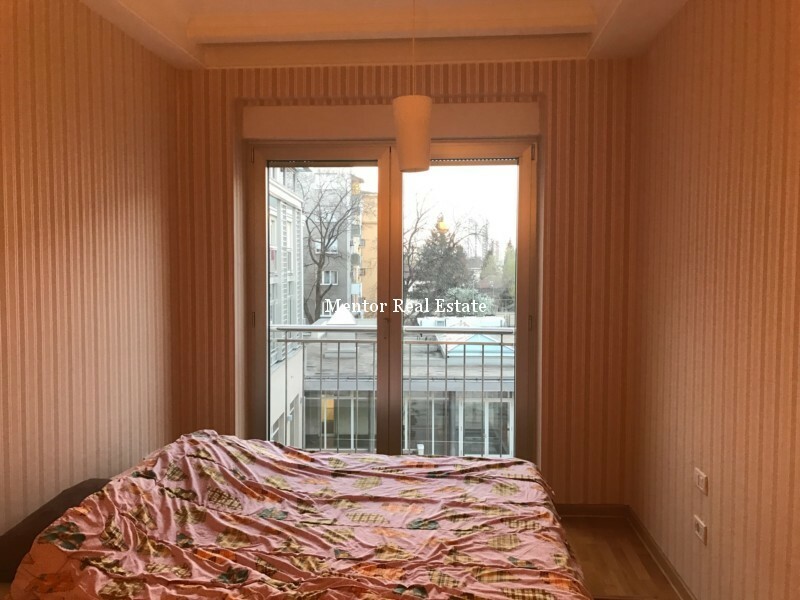 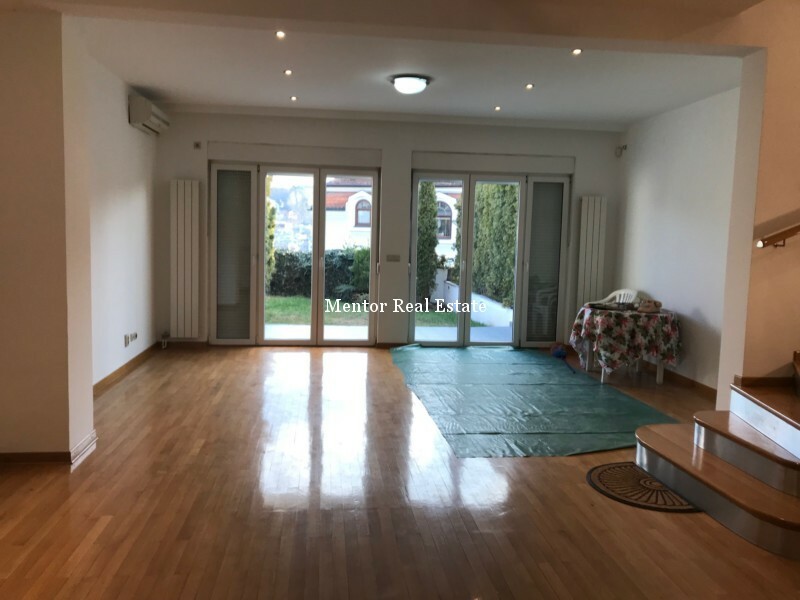 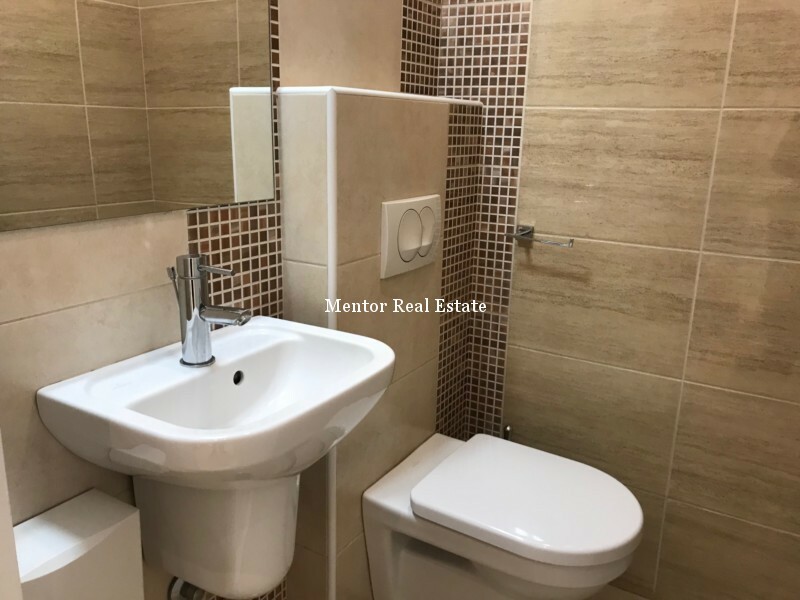 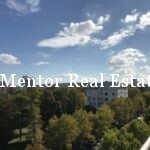 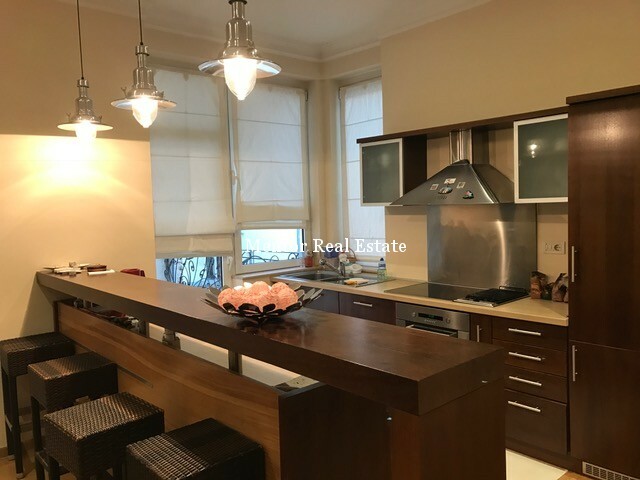 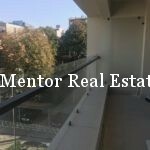 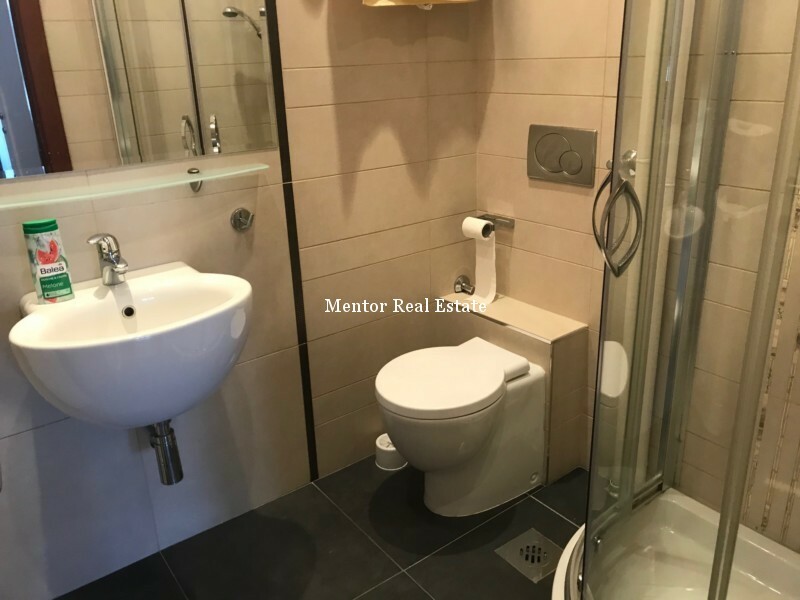 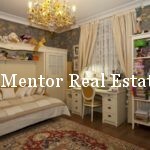 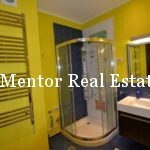 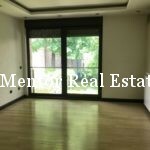 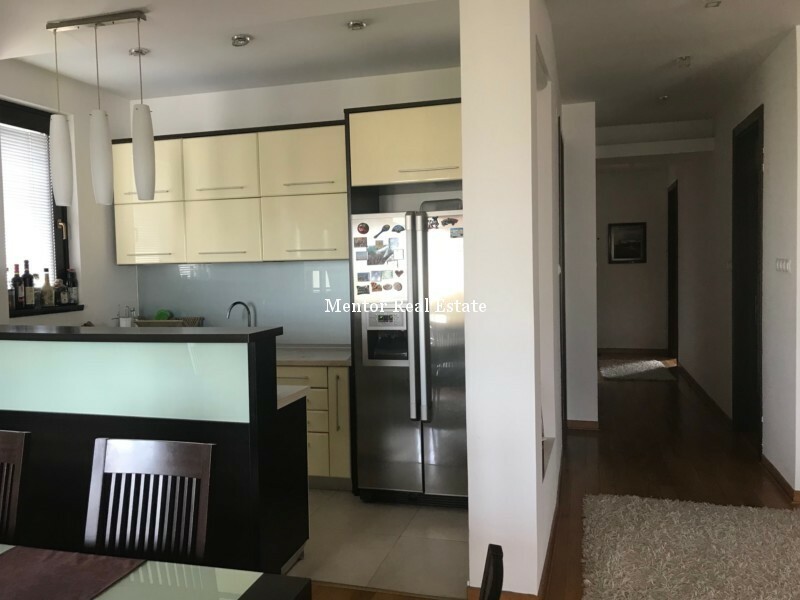 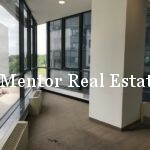 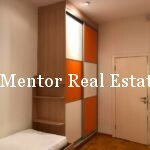 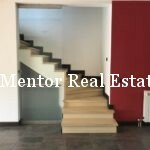 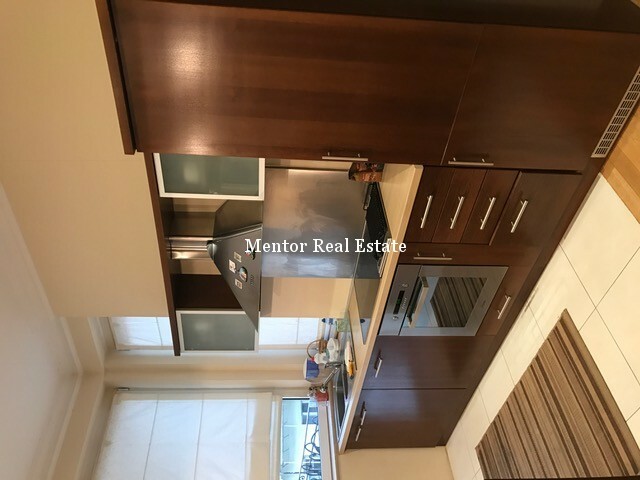 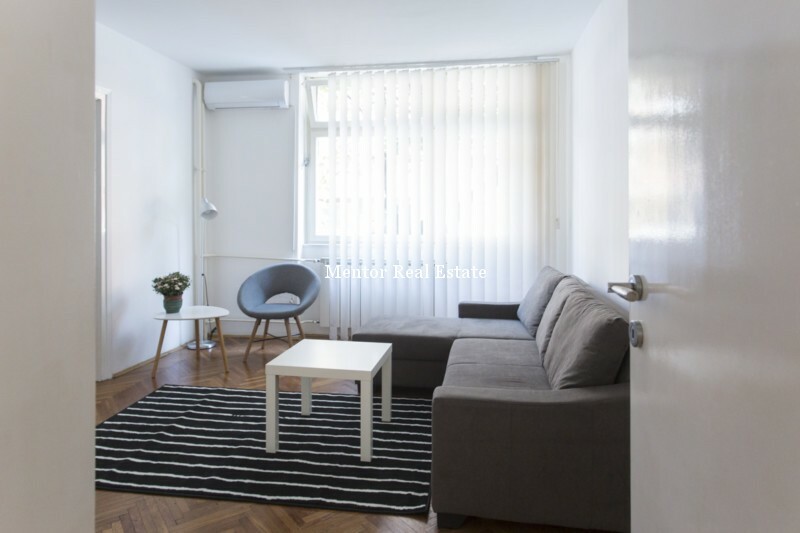 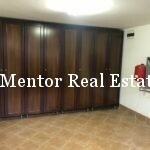 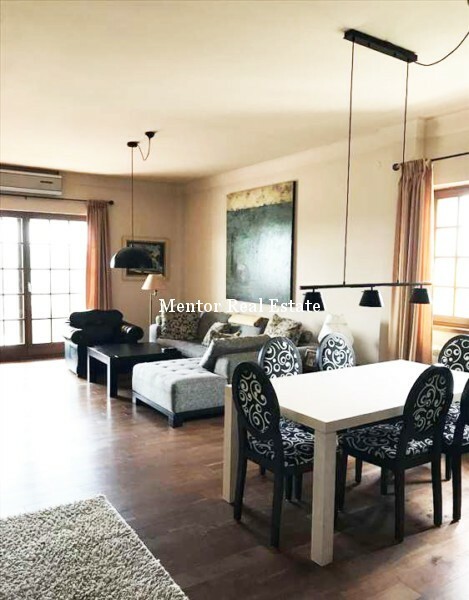 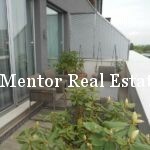 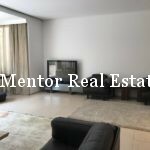 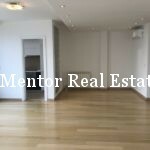 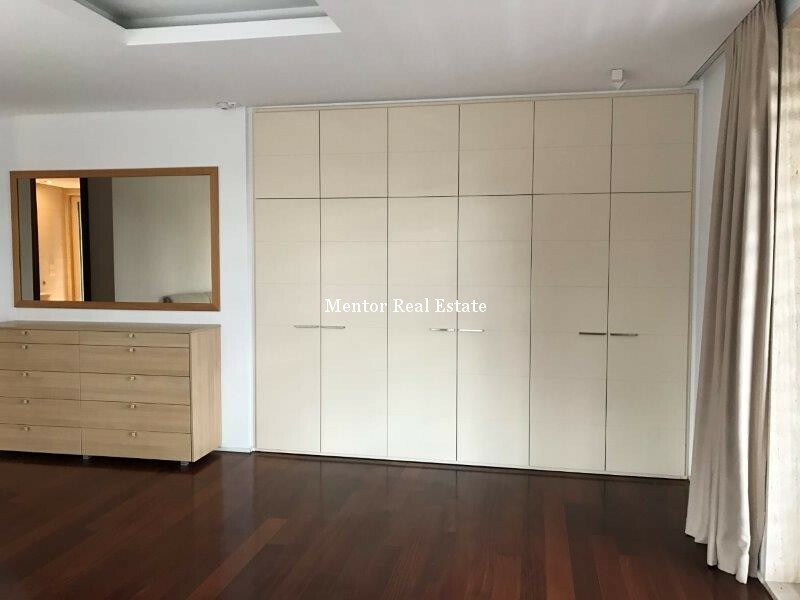 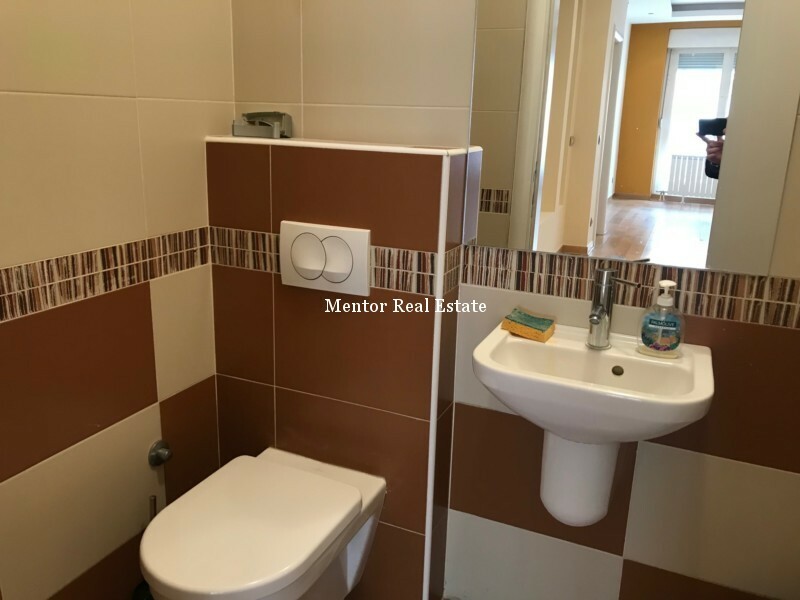 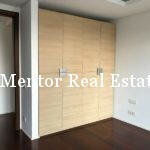 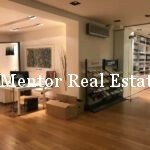 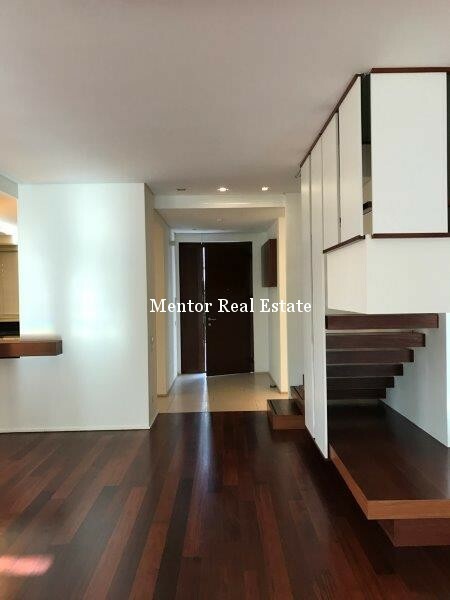 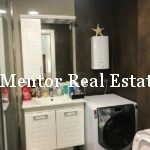 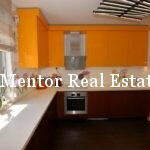 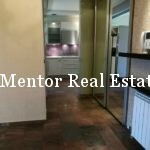 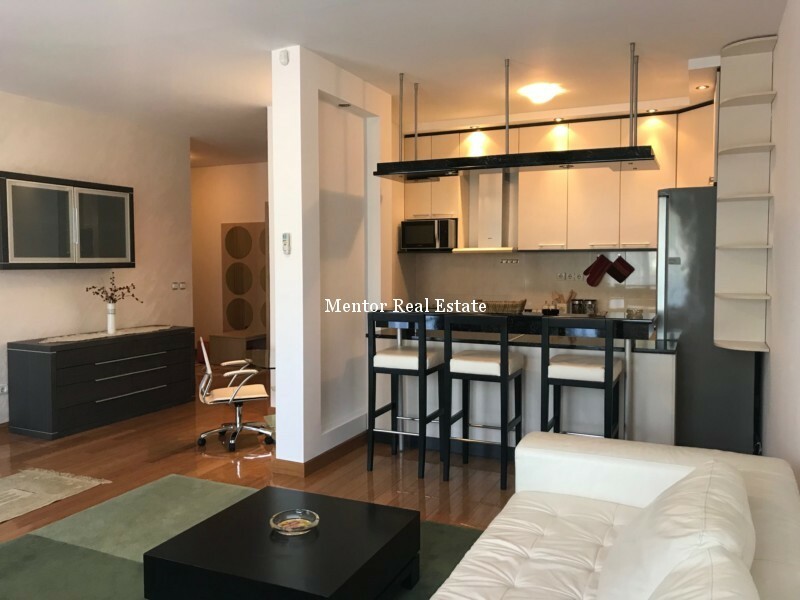 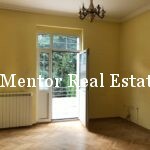 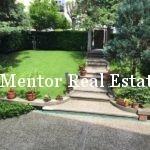 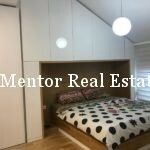 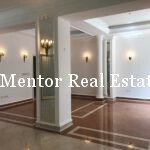 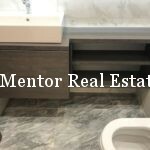 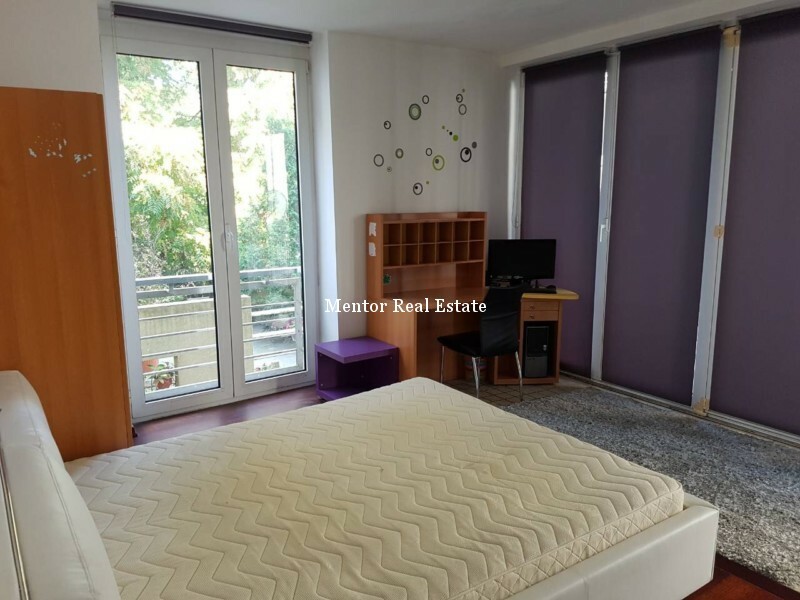 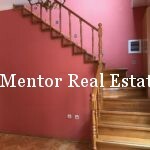 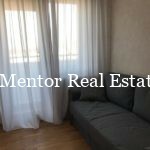 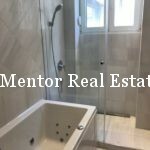 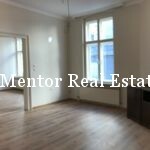 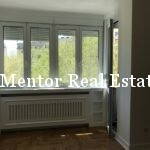 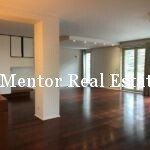 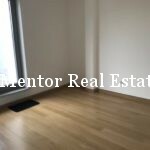 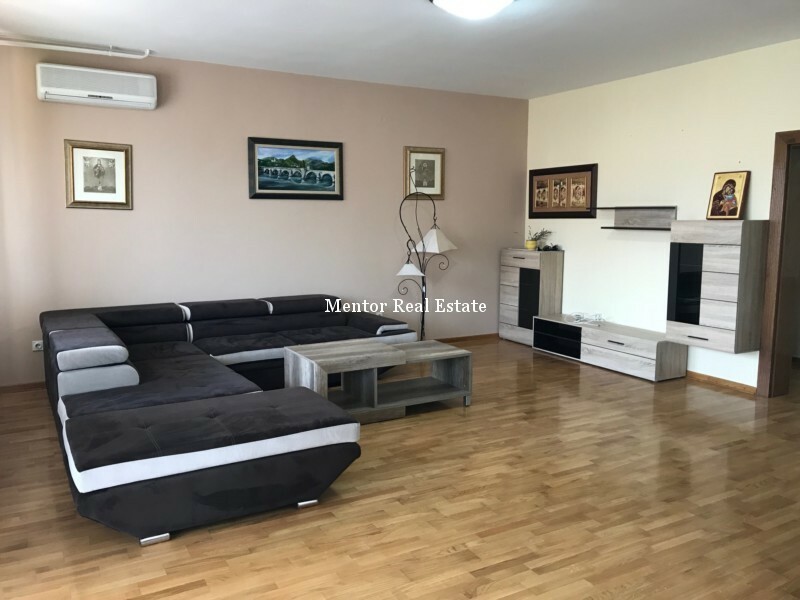 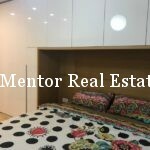 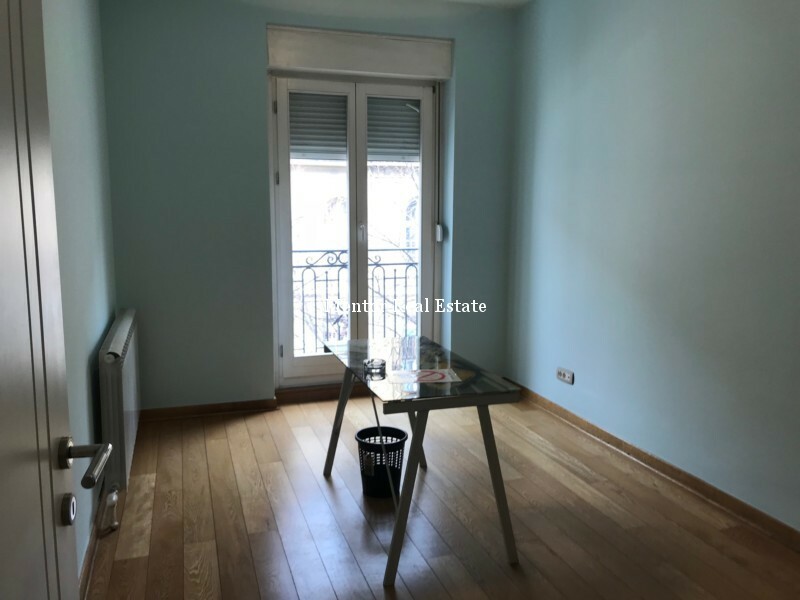 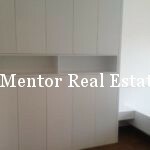 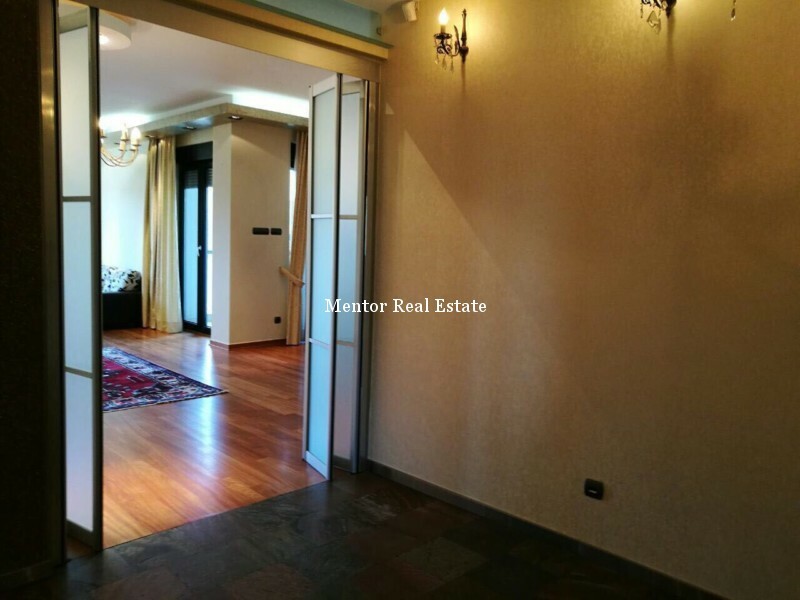 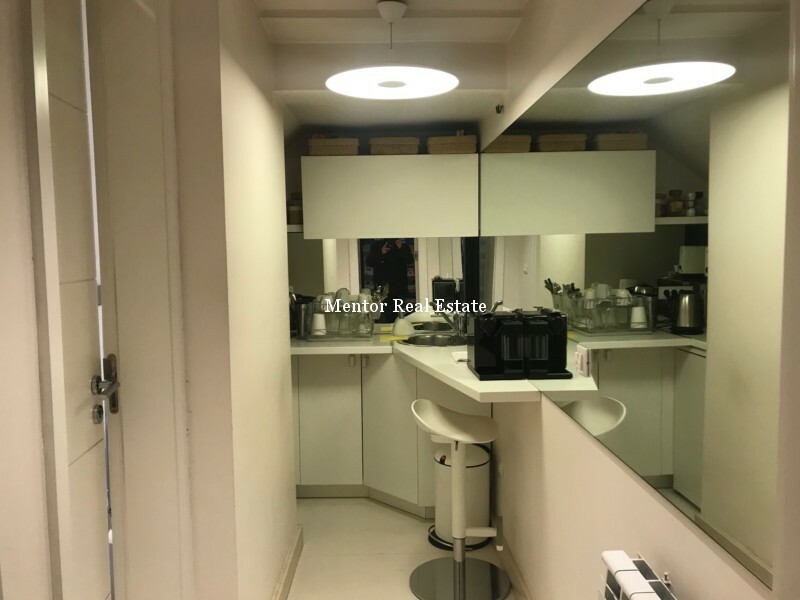 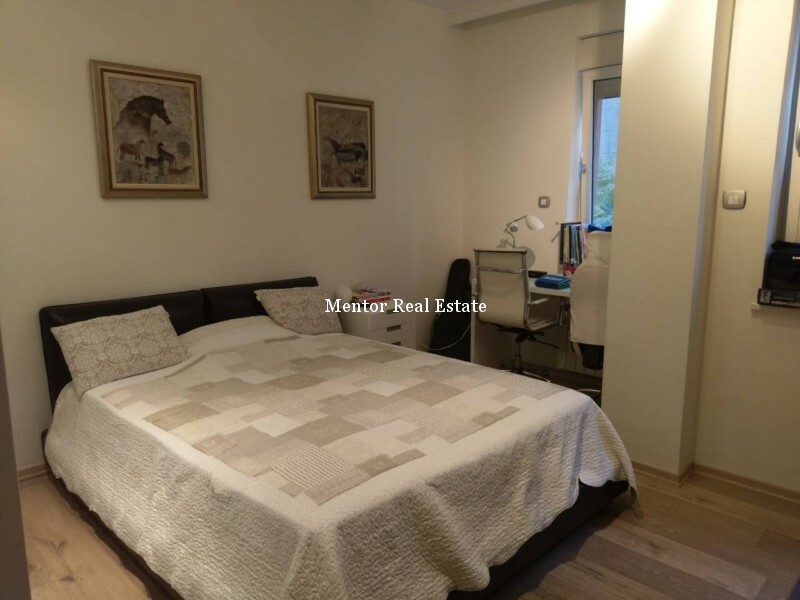 Renting an apartment to foreign diplomats is convenient for every real estate agency as guaranteeing long term agreement with a serious tenant and provides good references for property services for all other potential tenants that look for serious and professional help with renting their new property. 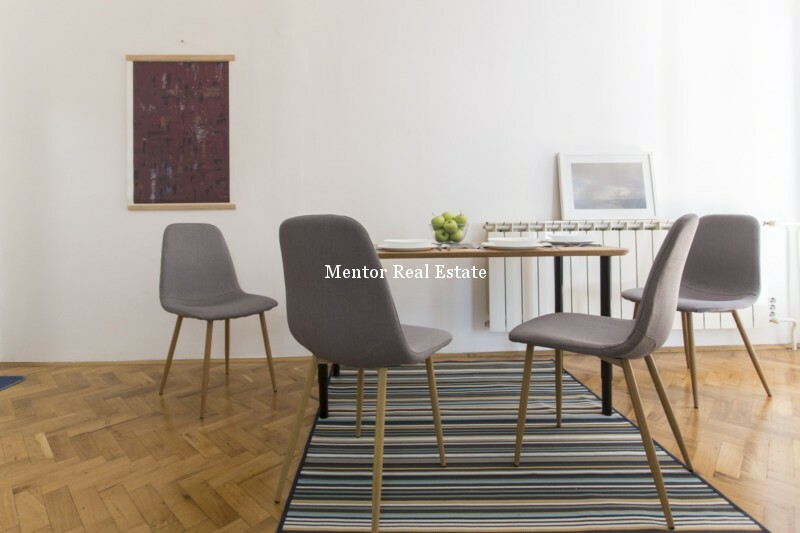 When renting apartment to a foreign diplomats you can either rent a property directly to diplomat representative, consul and other personal from different international organizations or to an embassy and diplomatic mission and the foreign government. 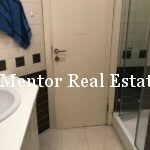 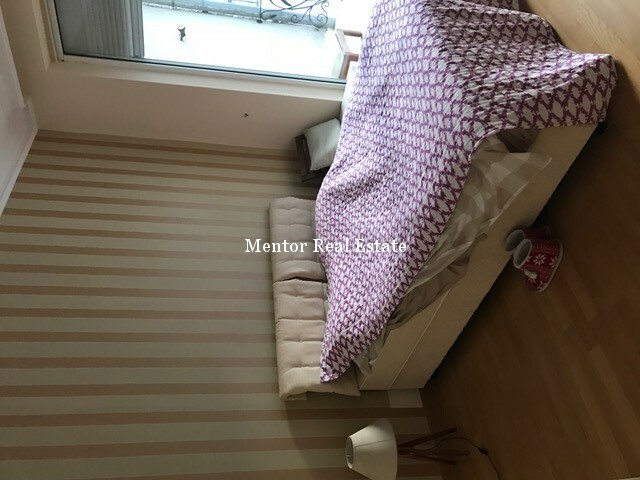 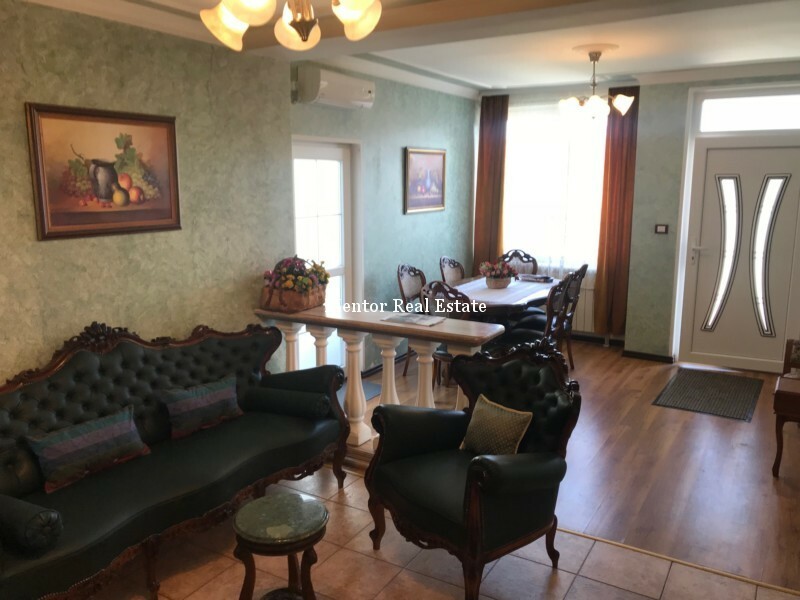 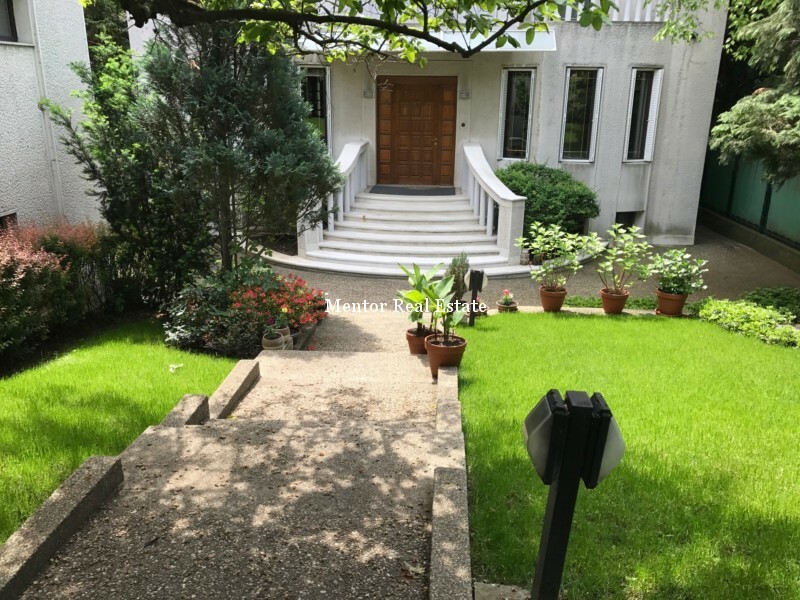 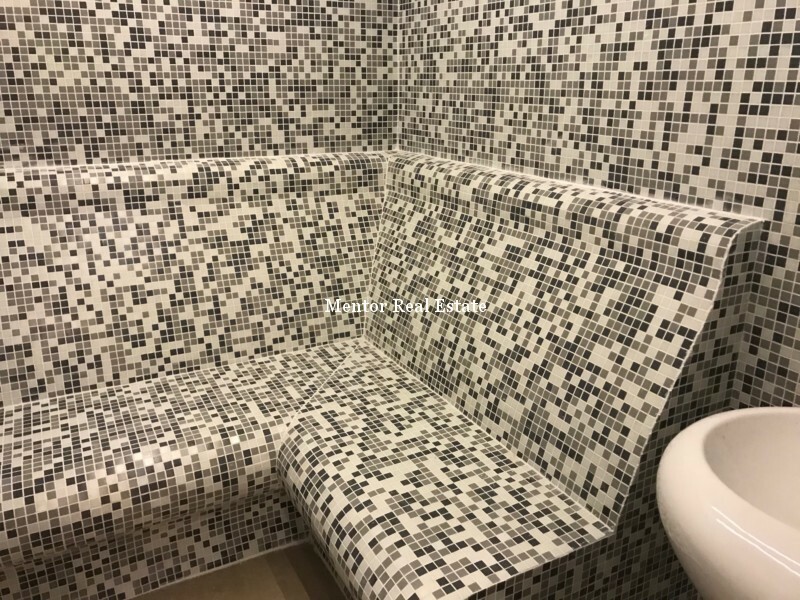 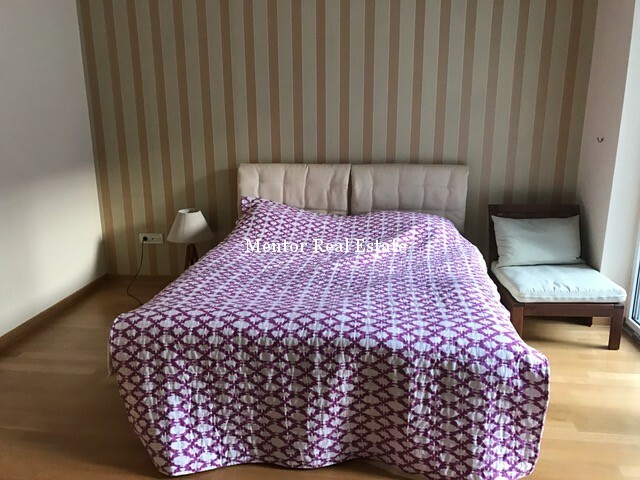 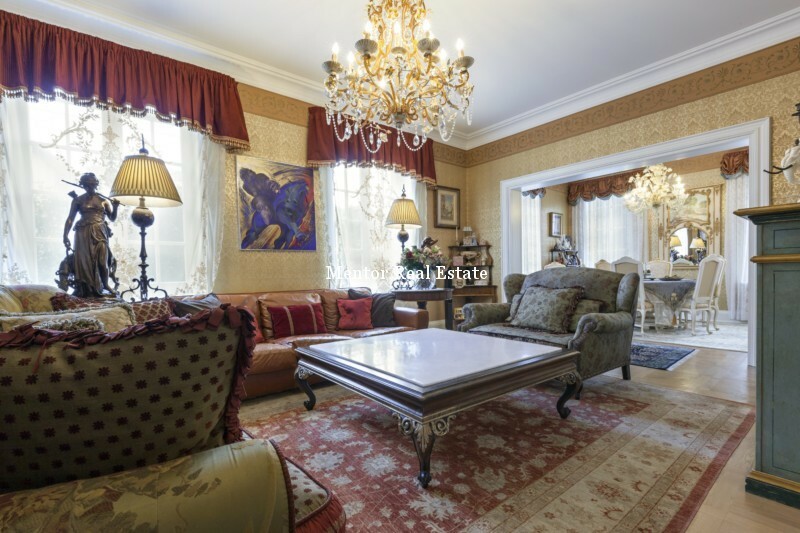 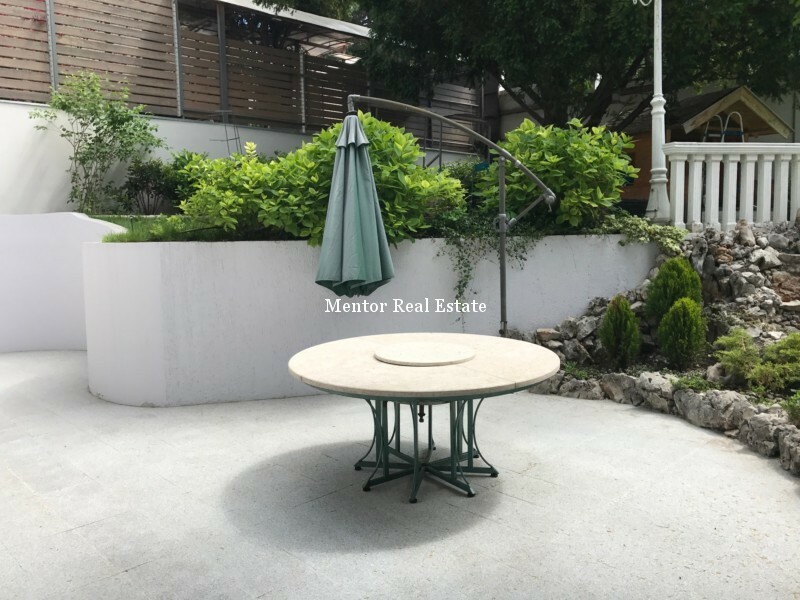 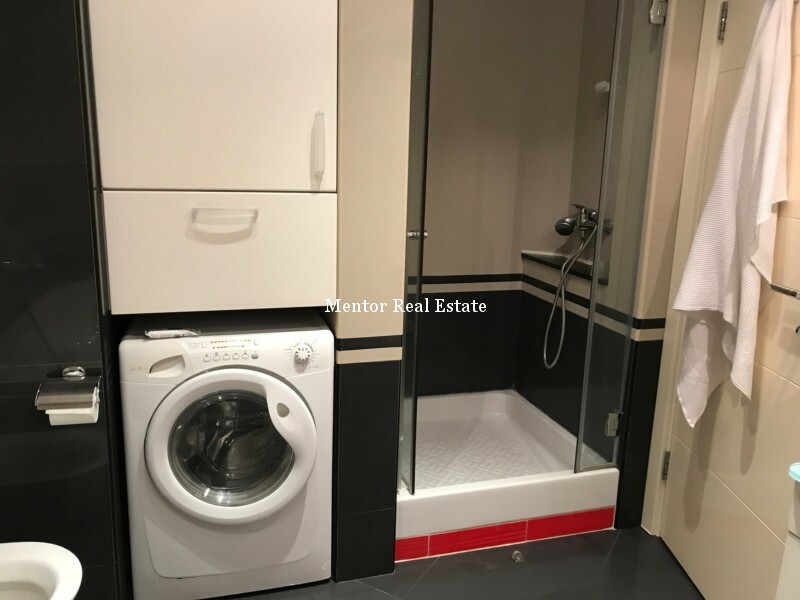 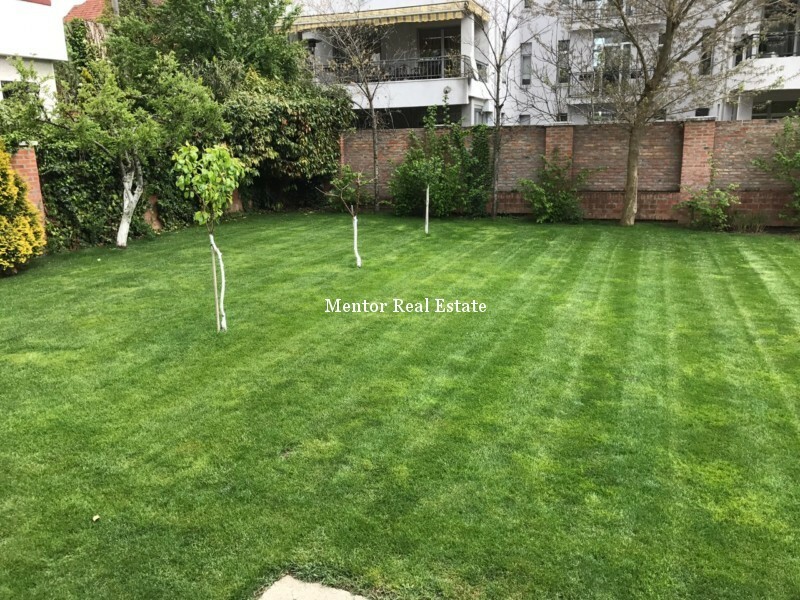 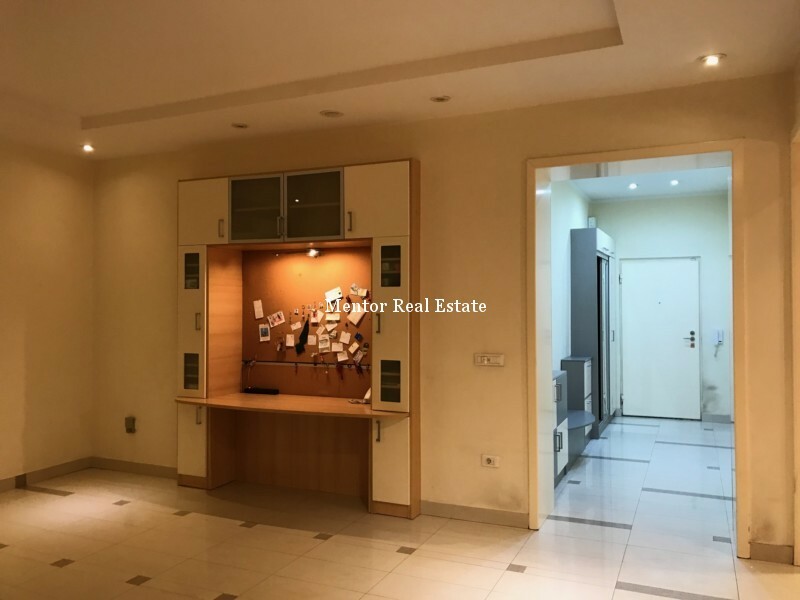 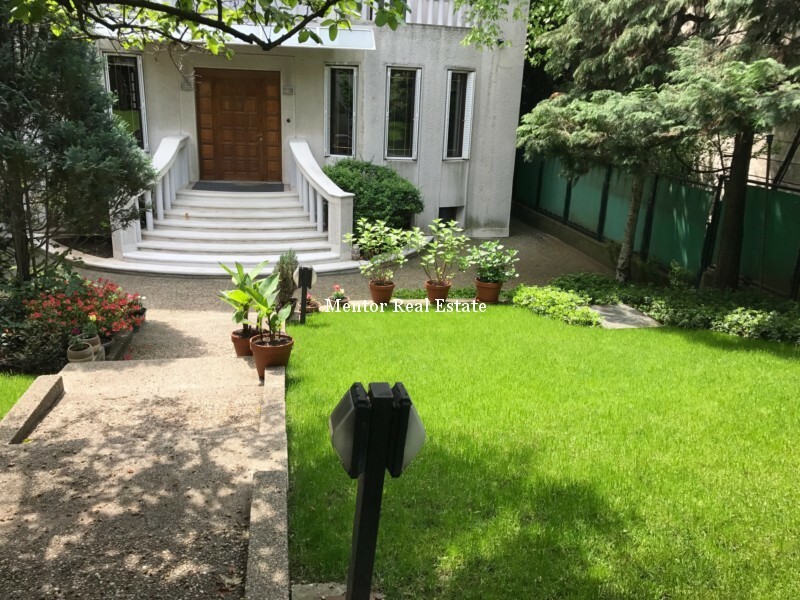 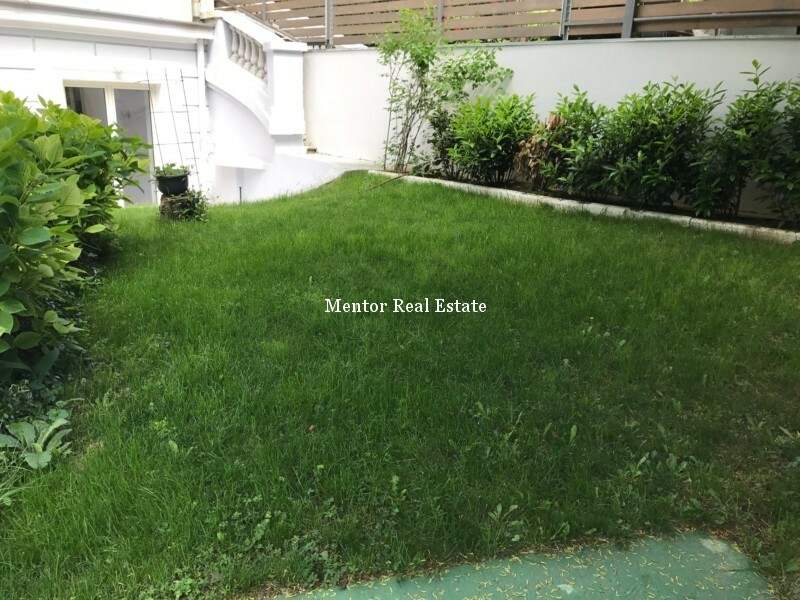 Often very good for business renting apartment to foreign diplomats is more demanding than renting properties to a business people and other VIP person. 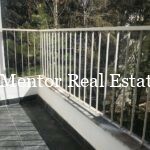 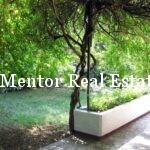 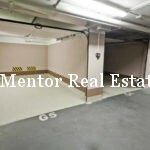 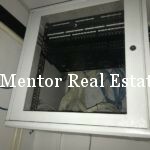 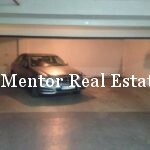 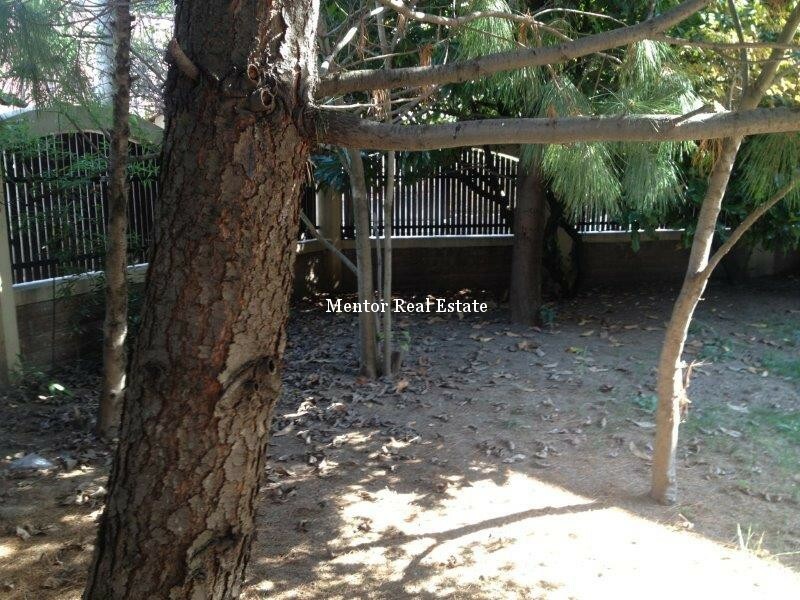 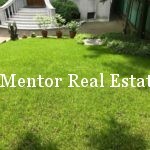 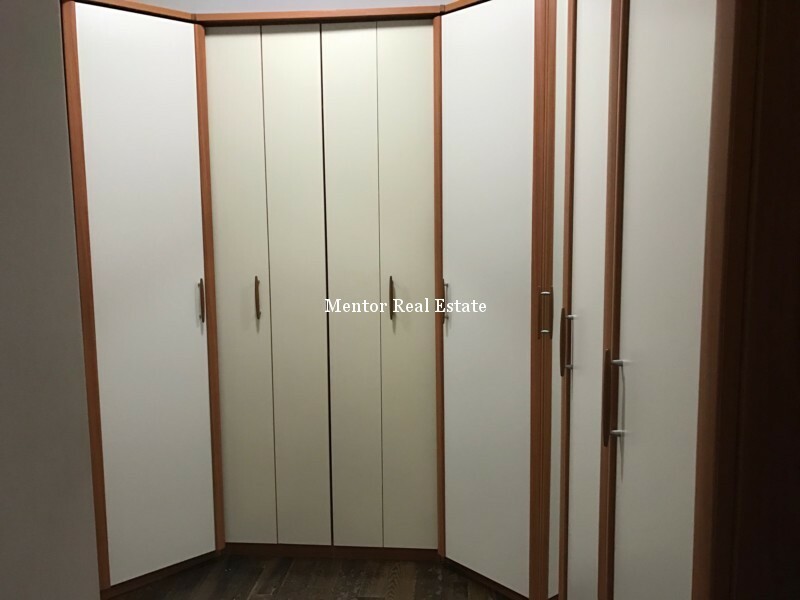 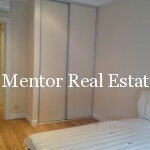 Property should be on a very good place with safety gate and able to answer all security standards. 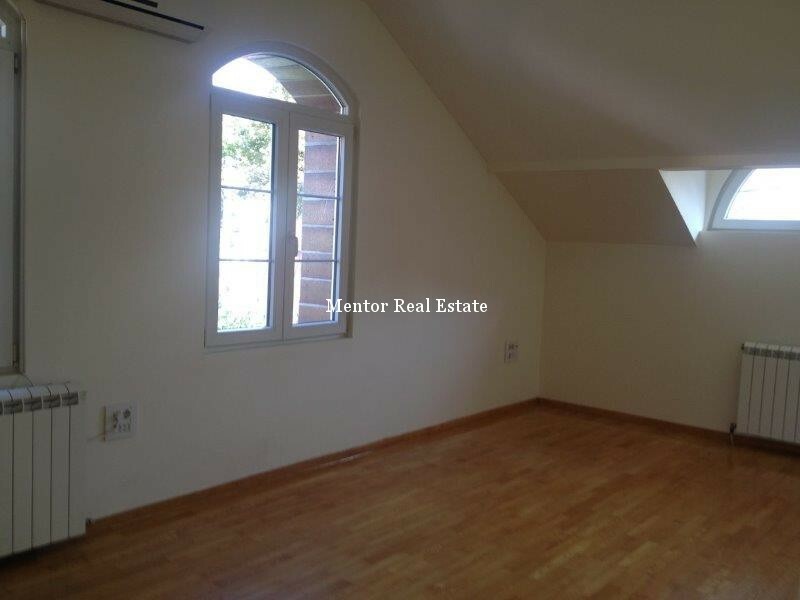 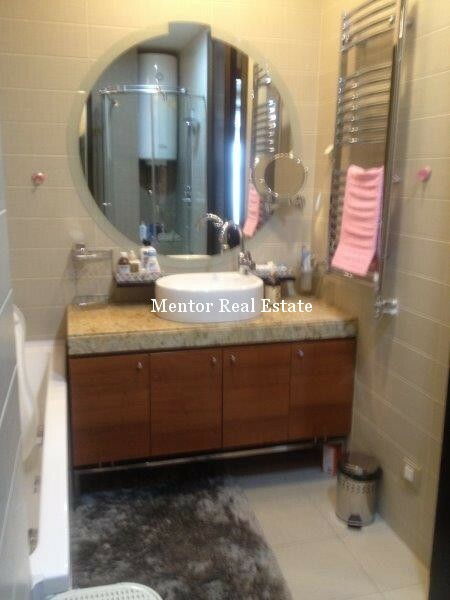 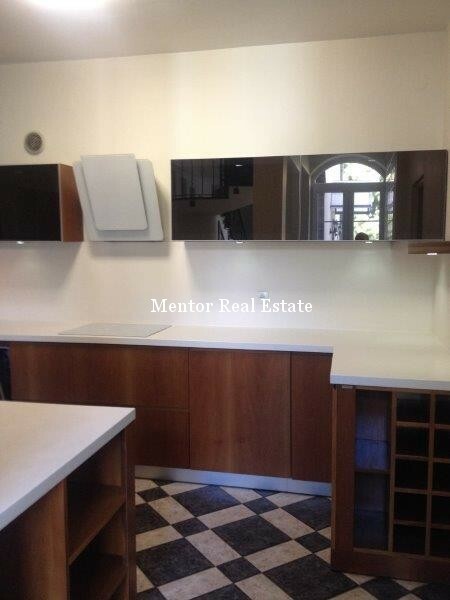 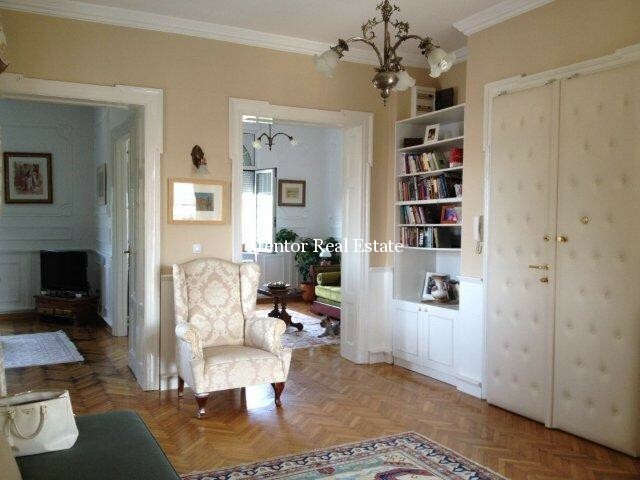 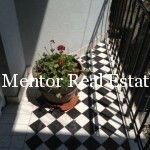 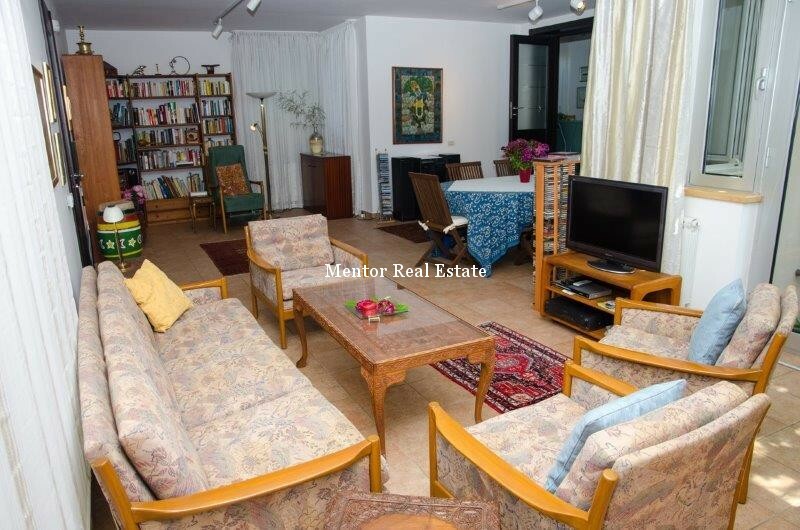 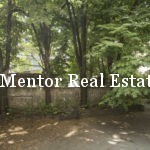 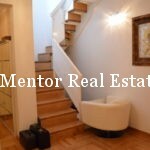 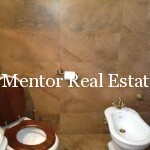 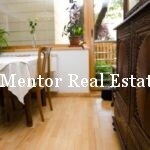 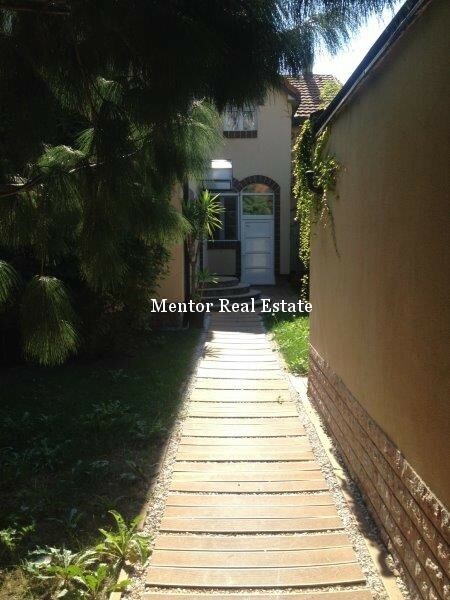 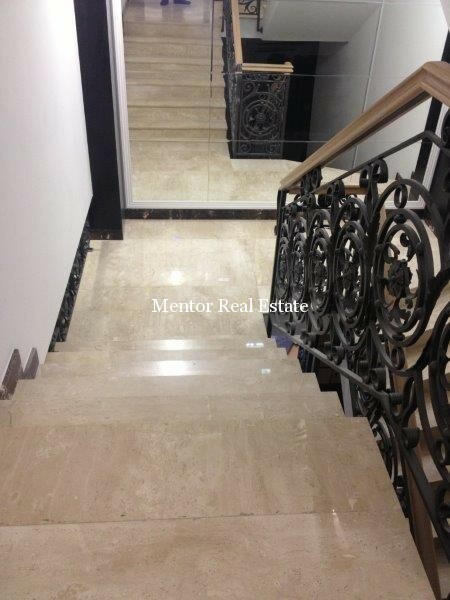 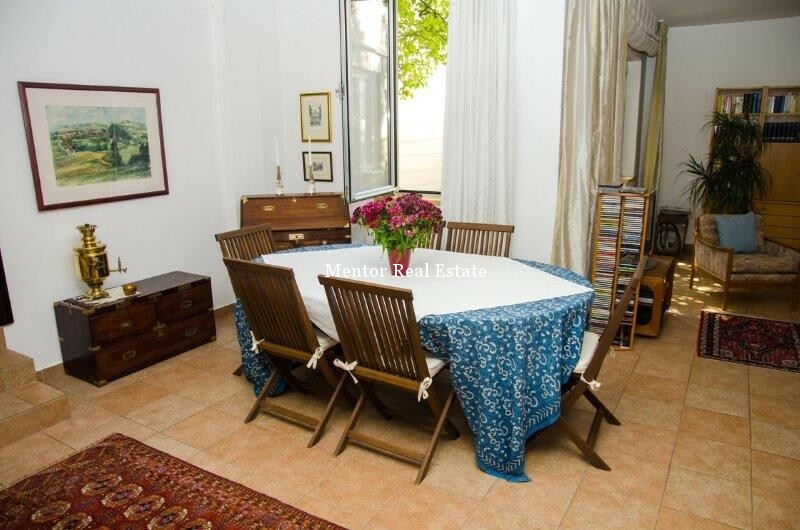 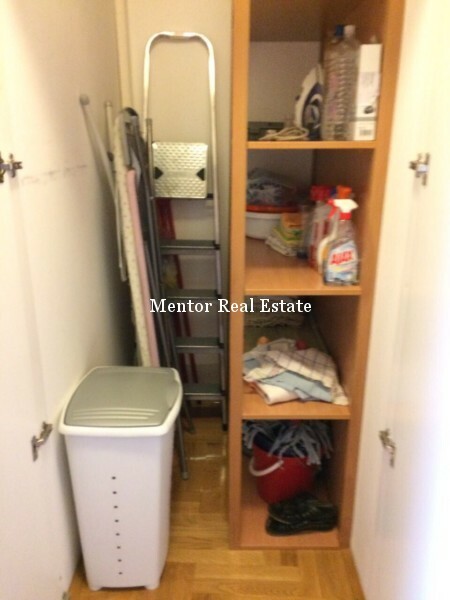 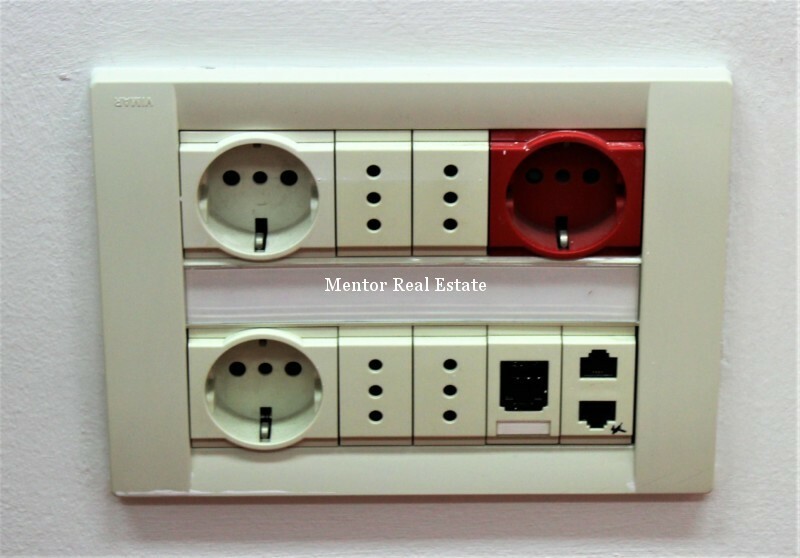 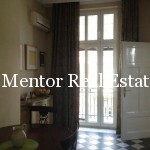 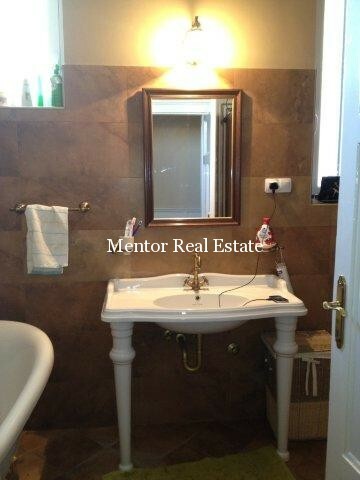 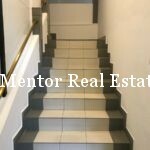 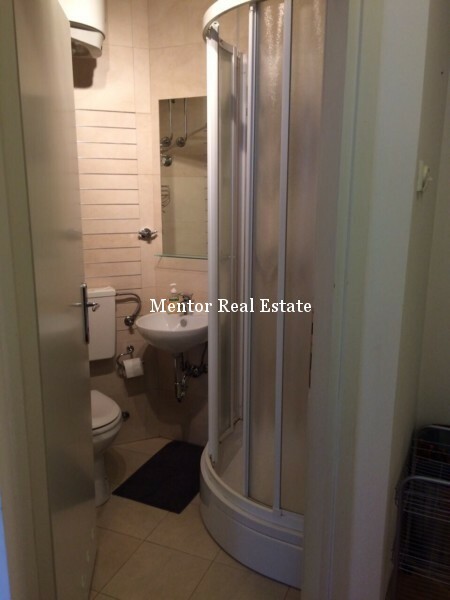 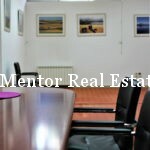 Read more how to prepare your property to rent it to an embassy? 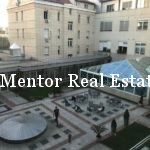 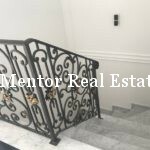 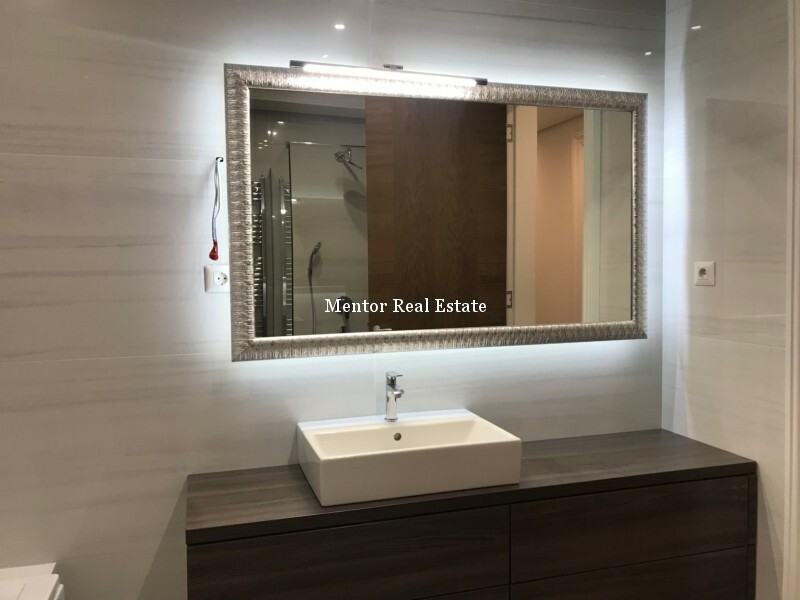 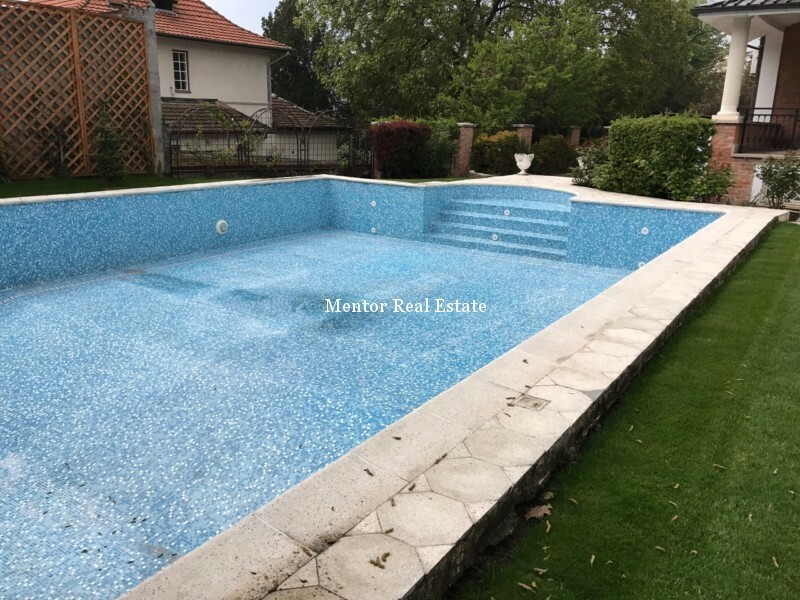 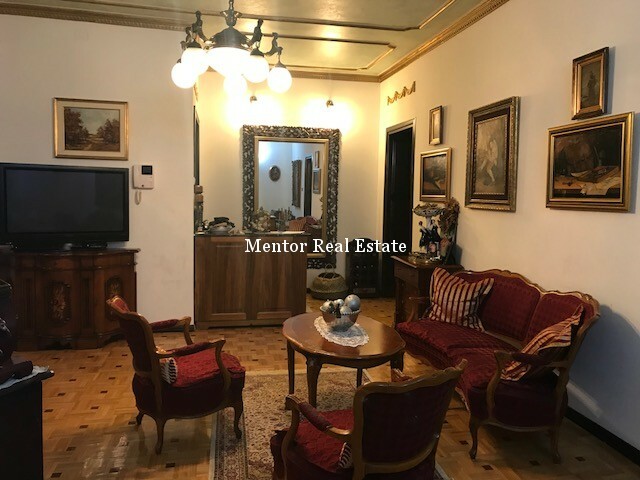 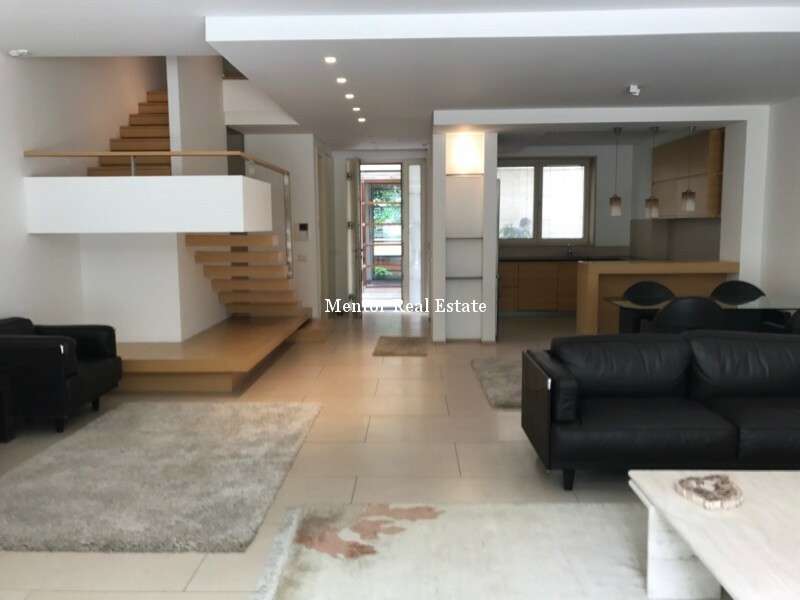 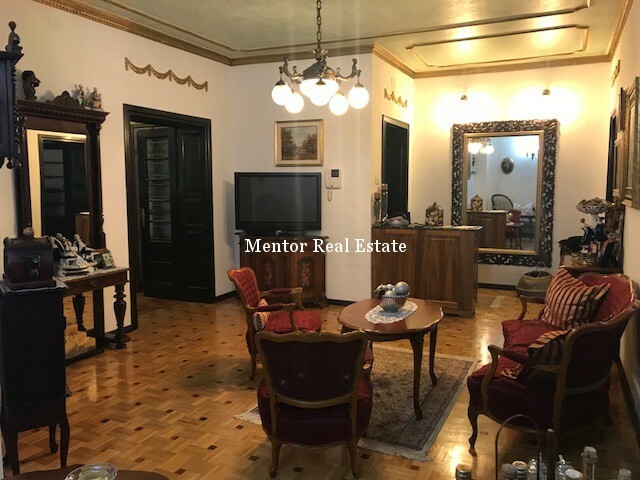 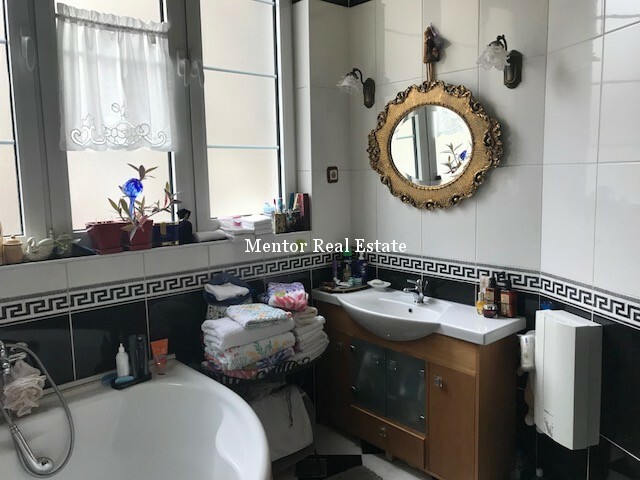 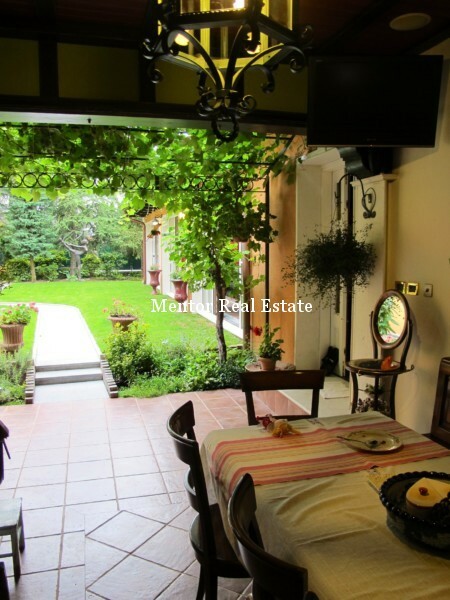 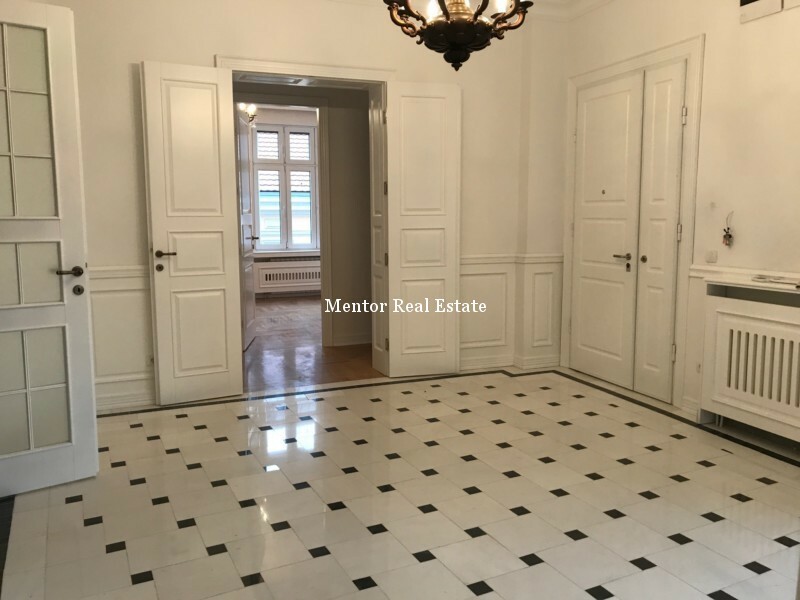 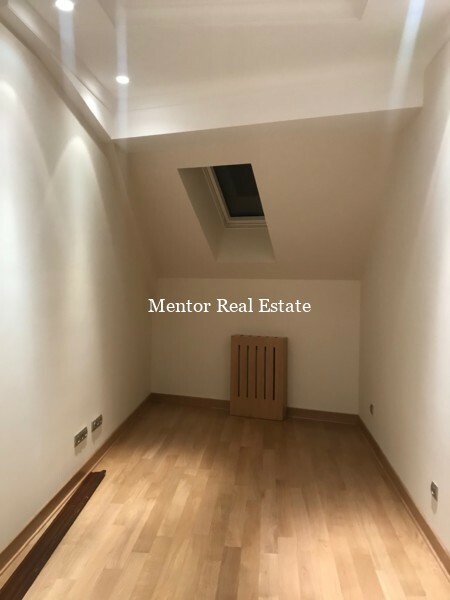 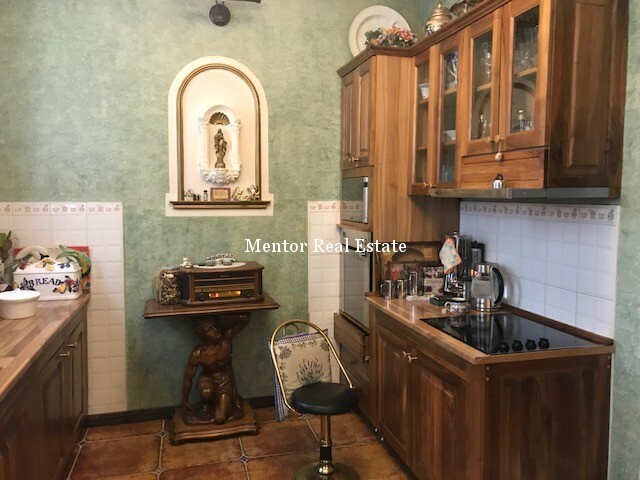 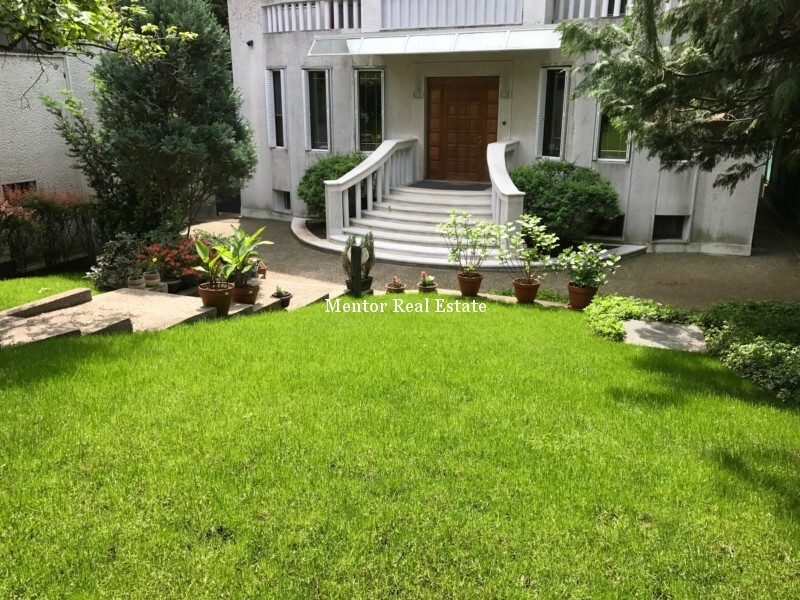 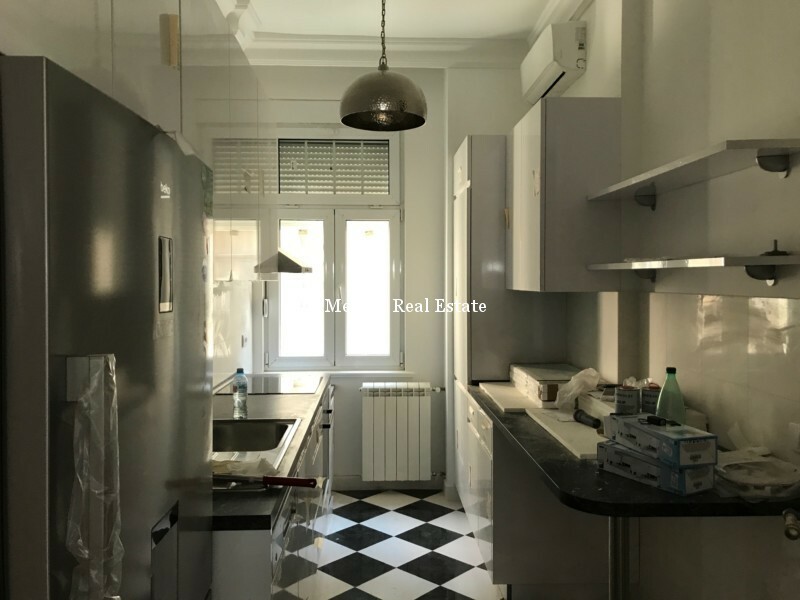 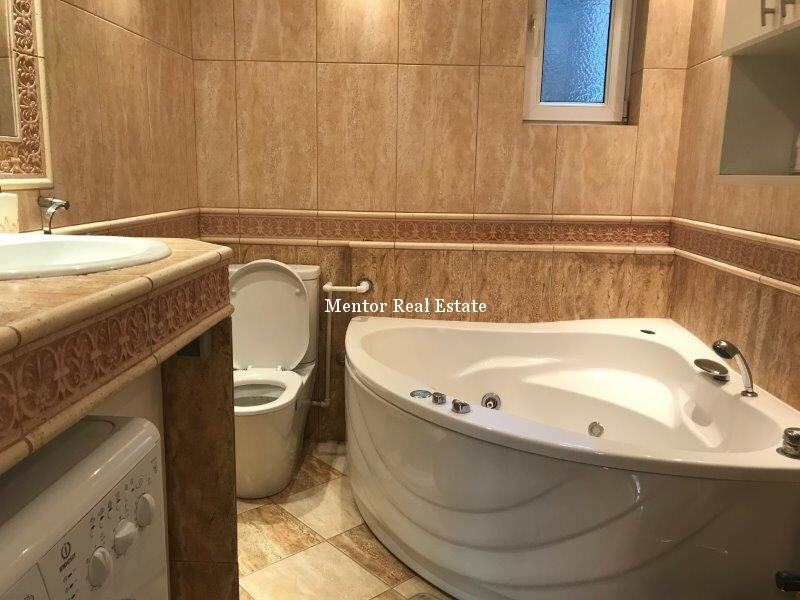 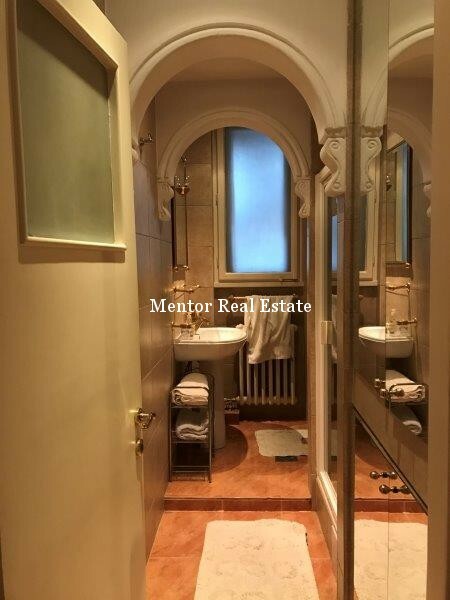 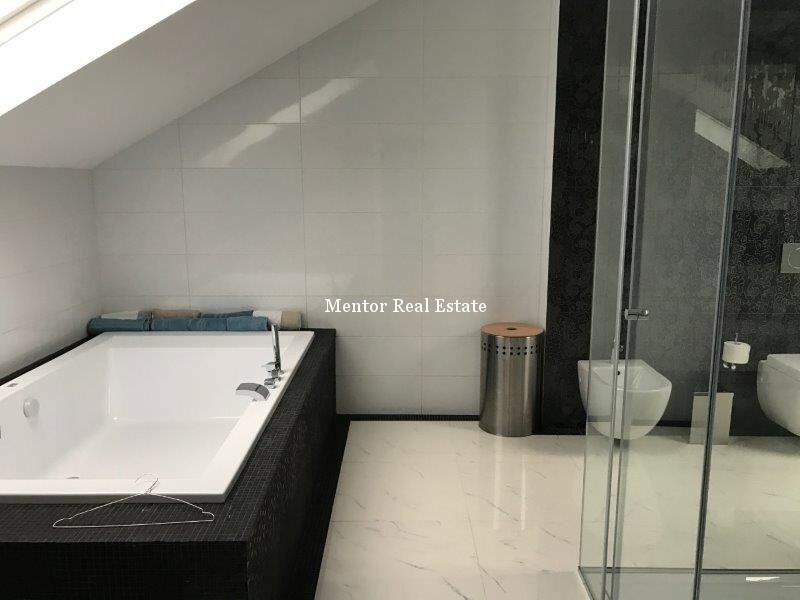 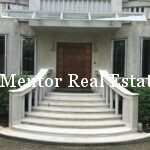 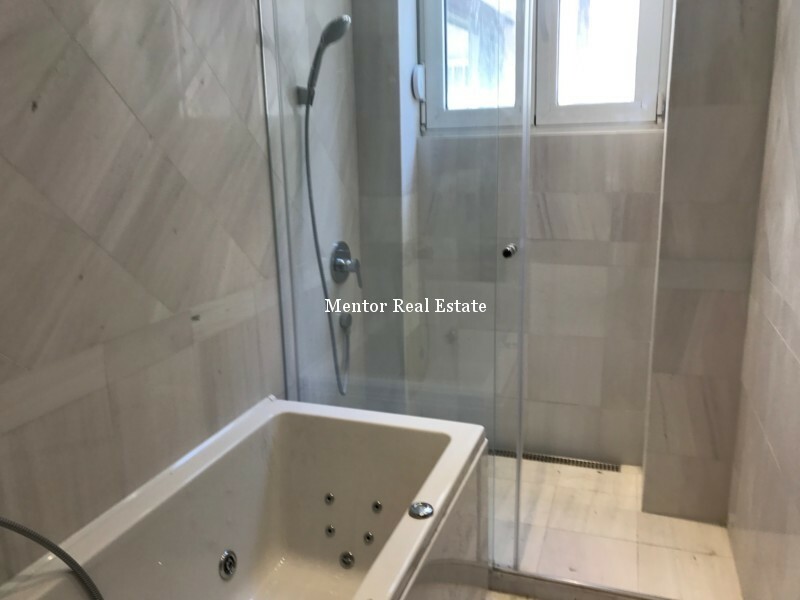 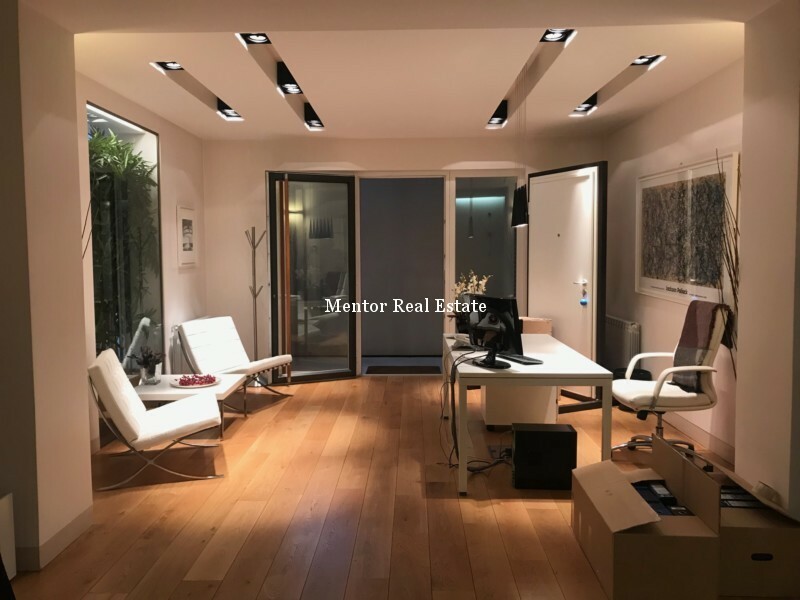 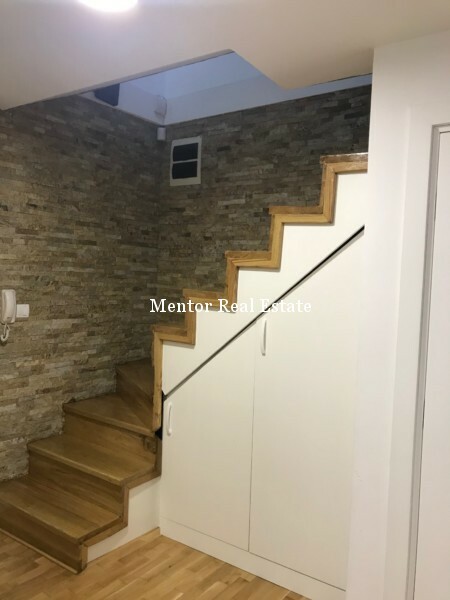 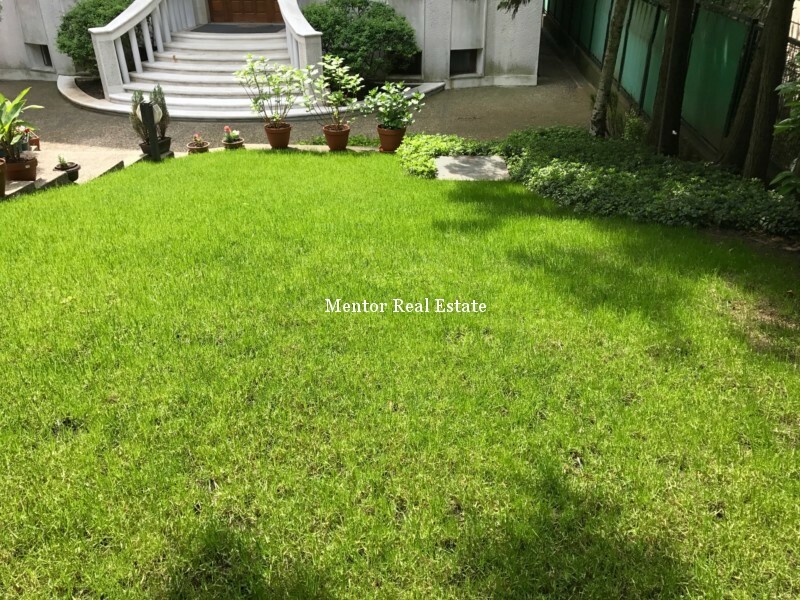 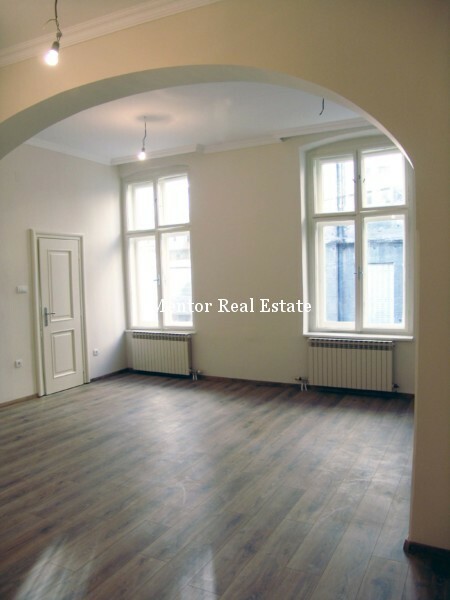 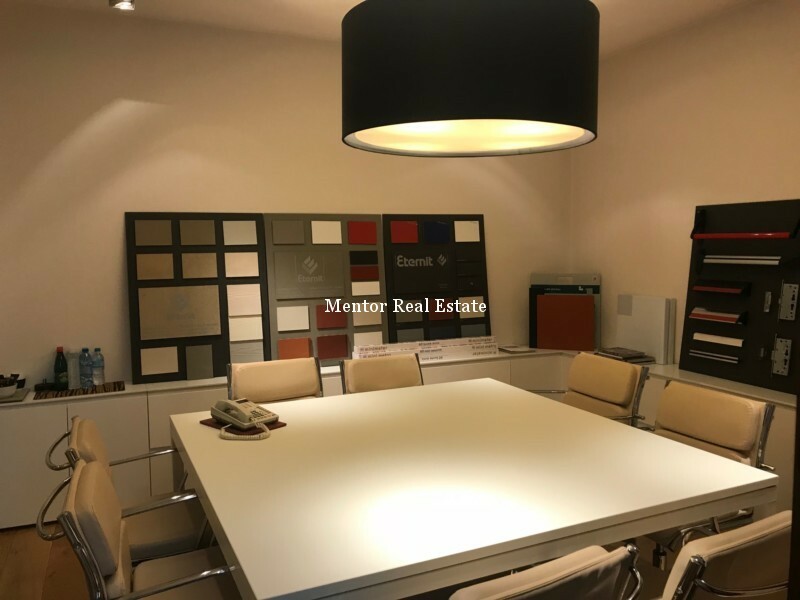 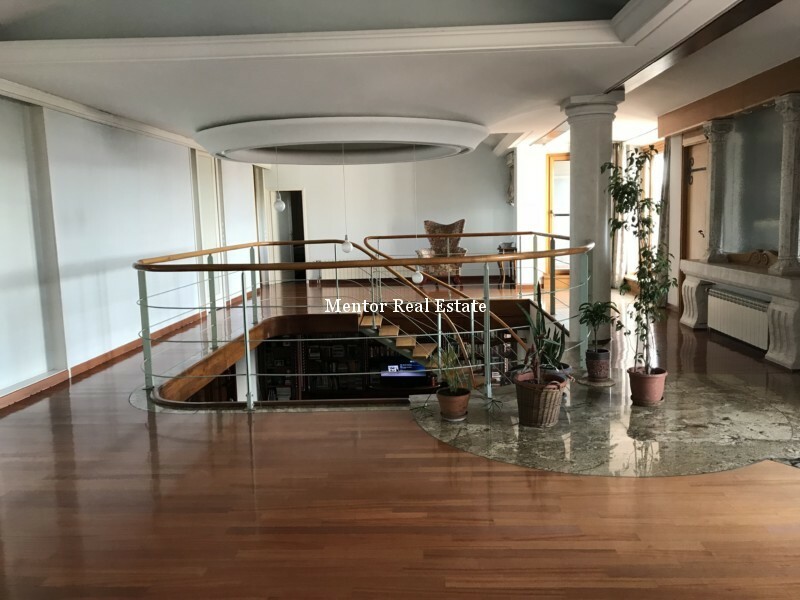 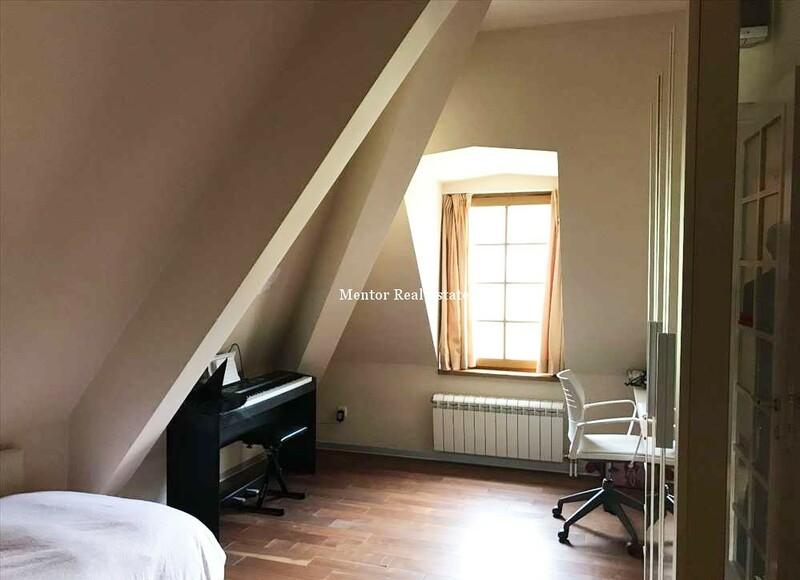 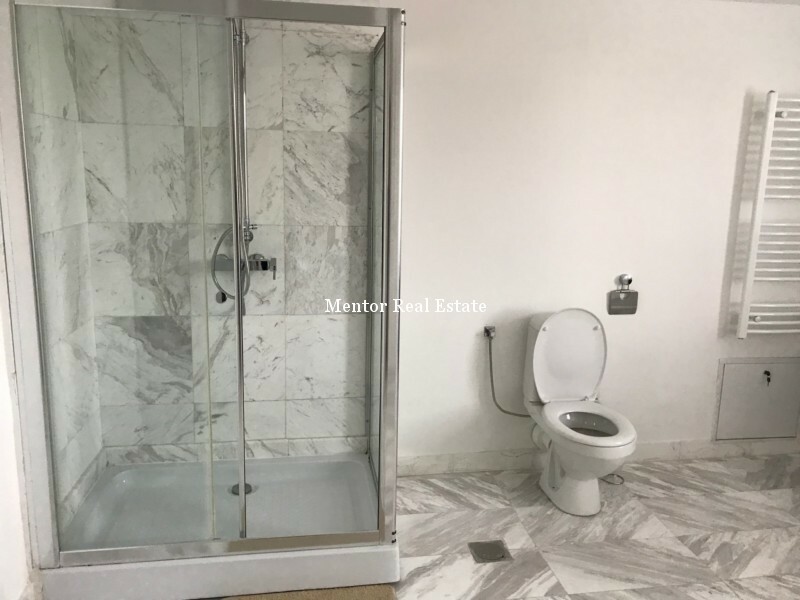 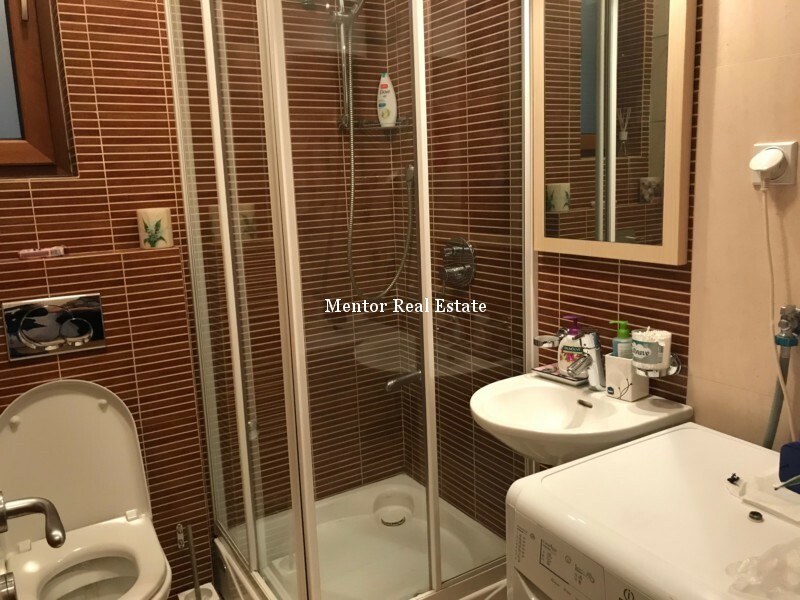 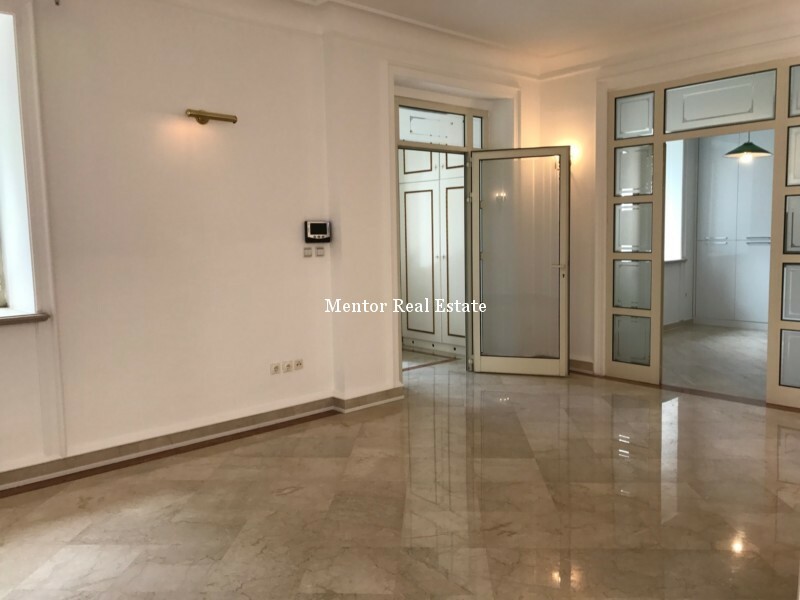 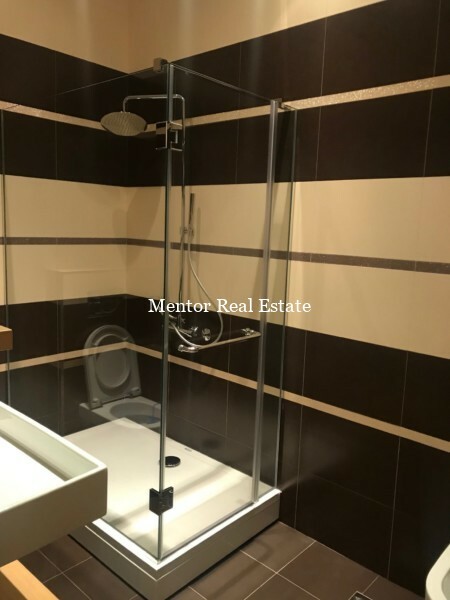 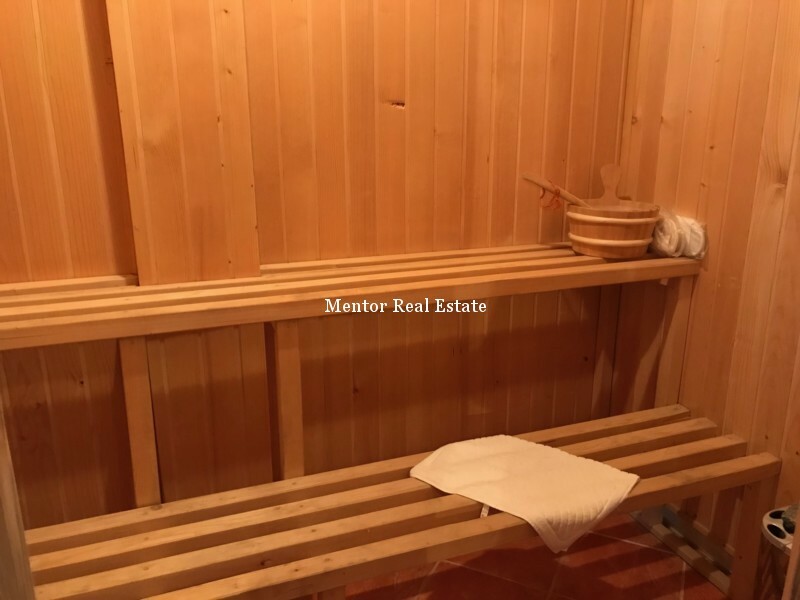 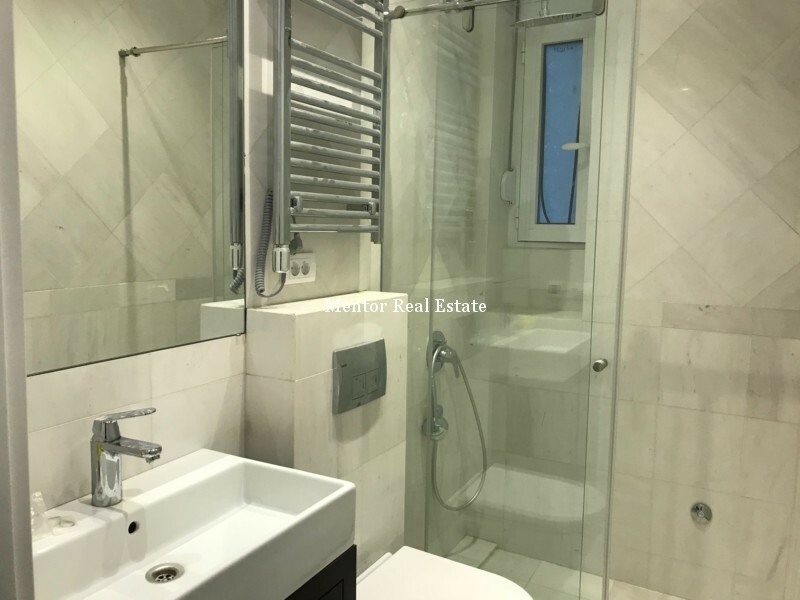 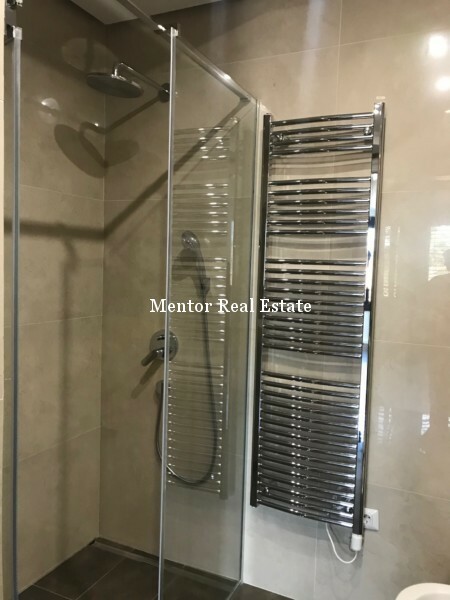 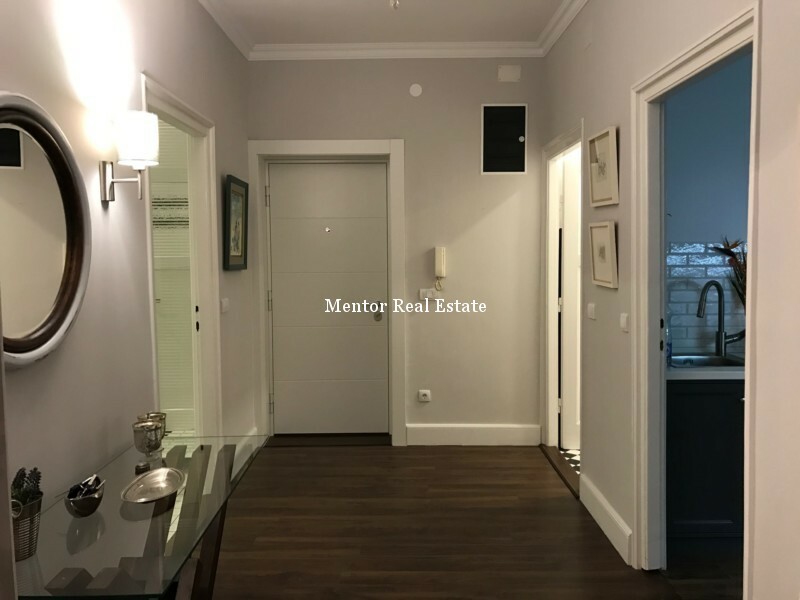 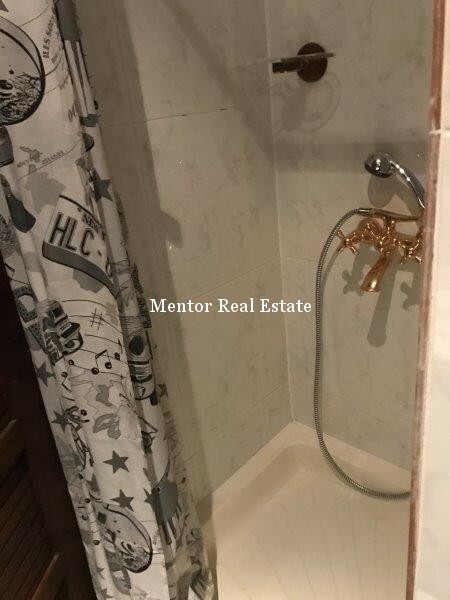 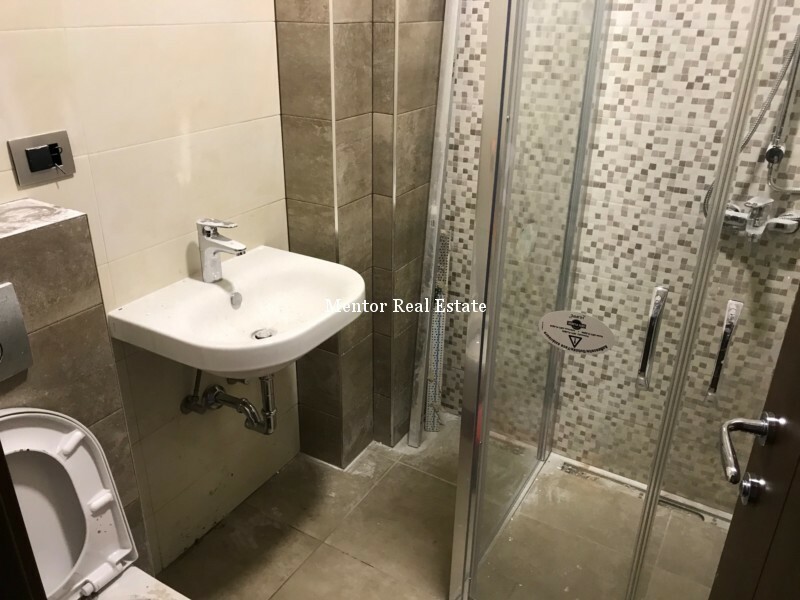 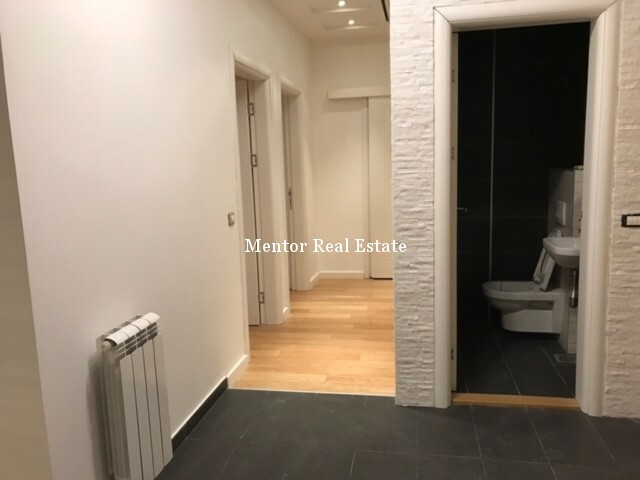 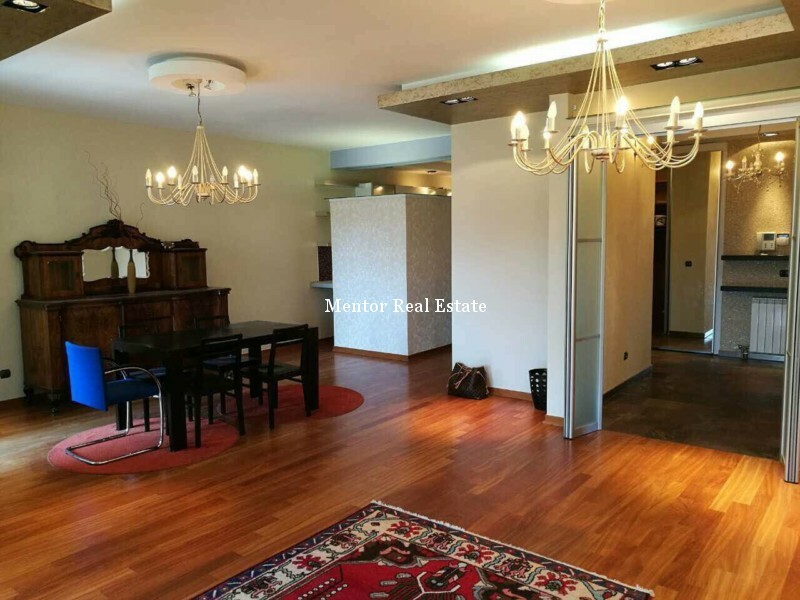 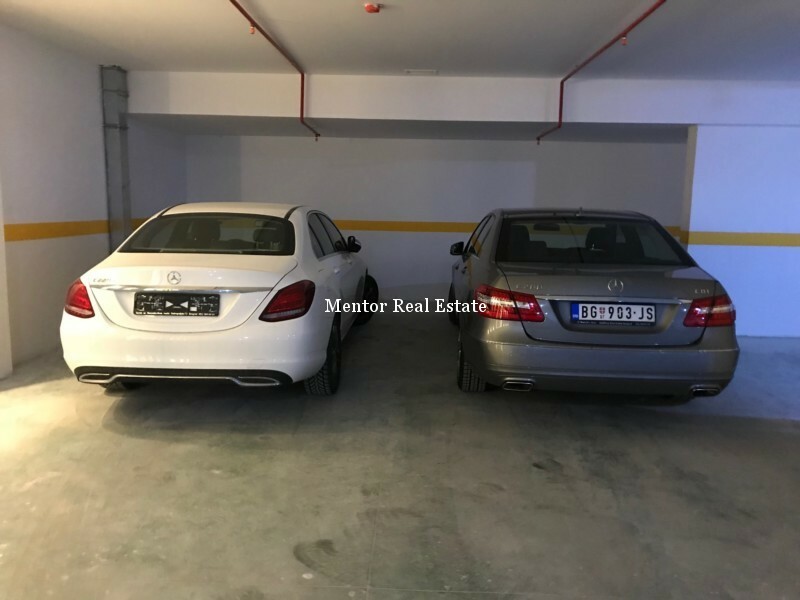 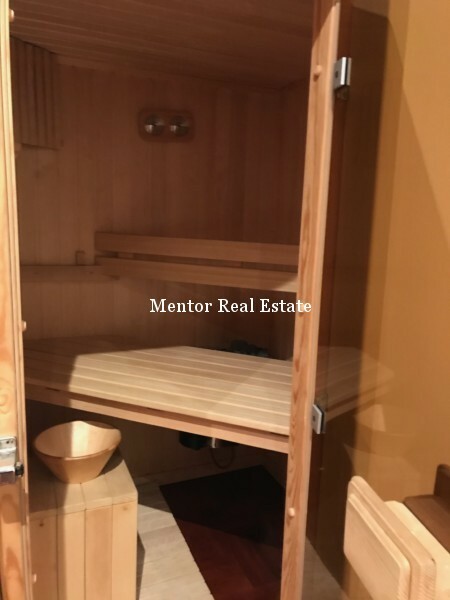 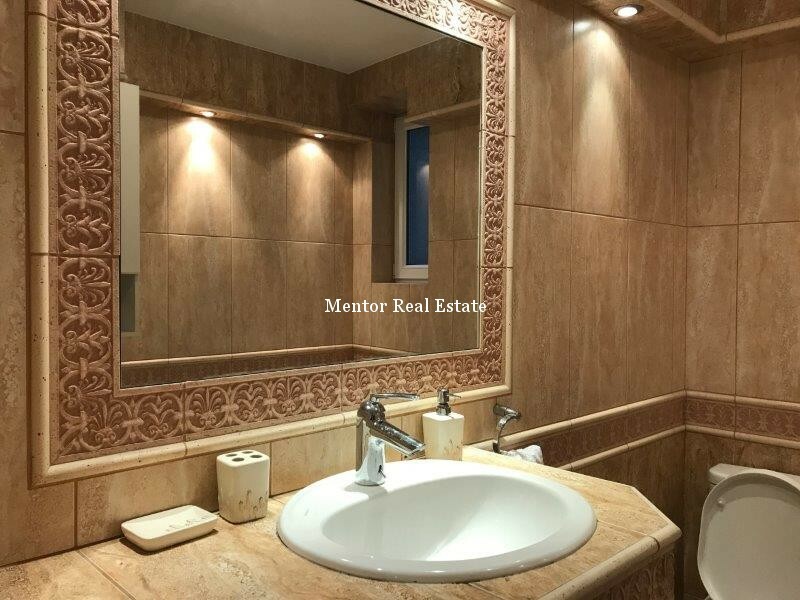 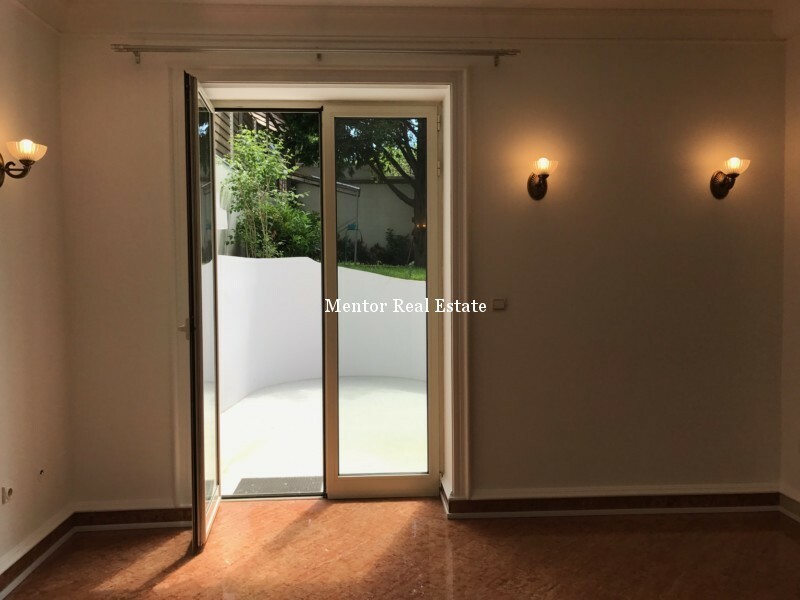 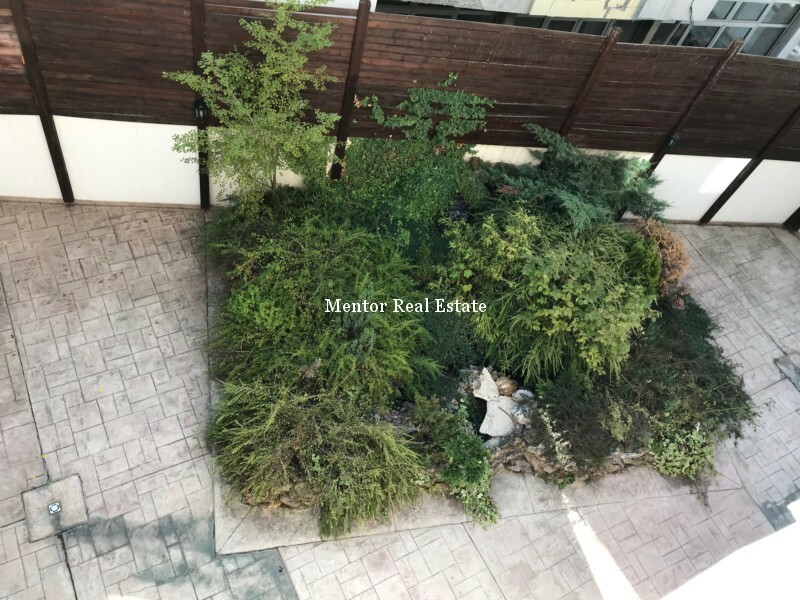 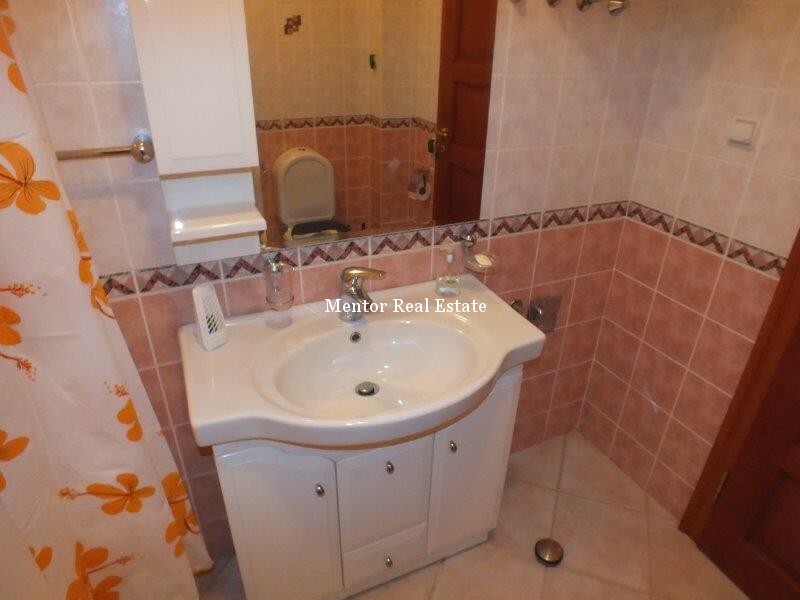 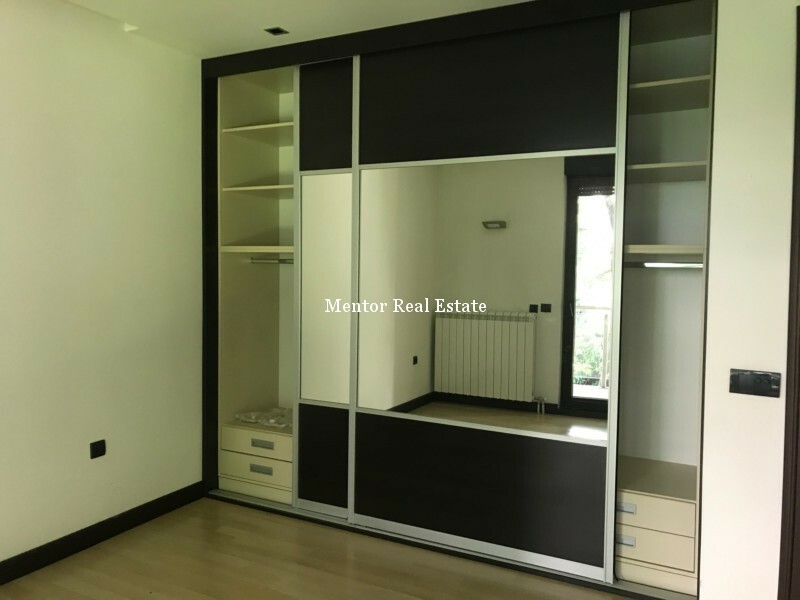 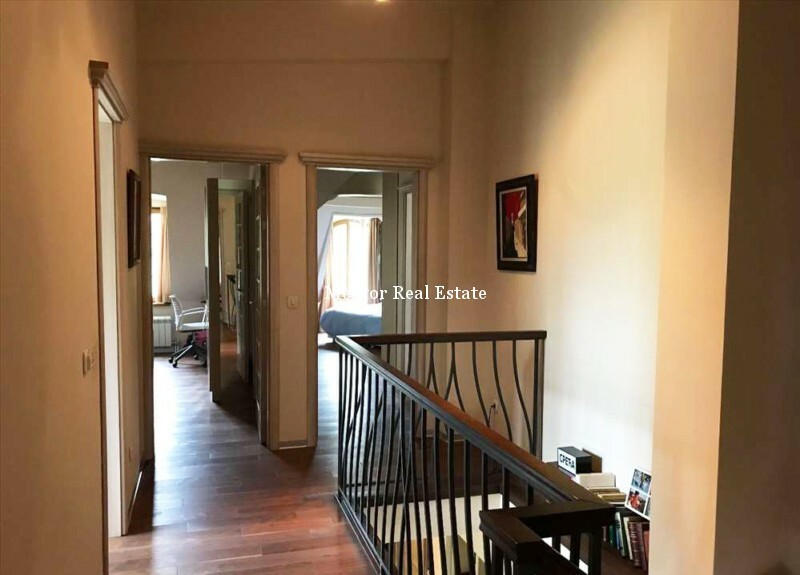 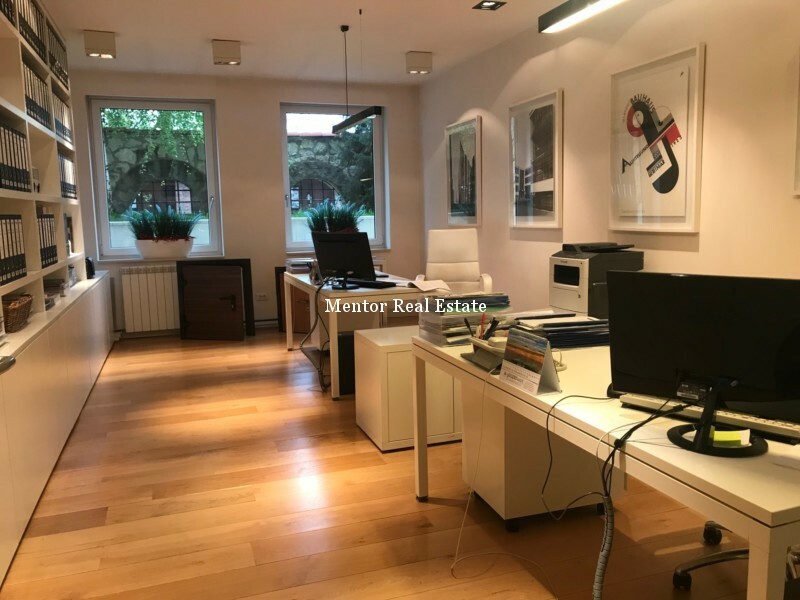 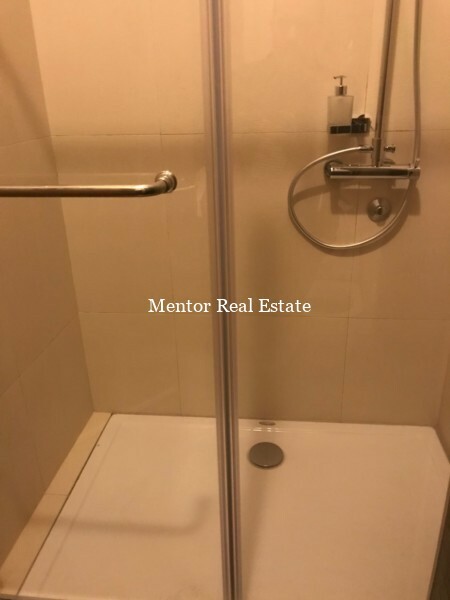 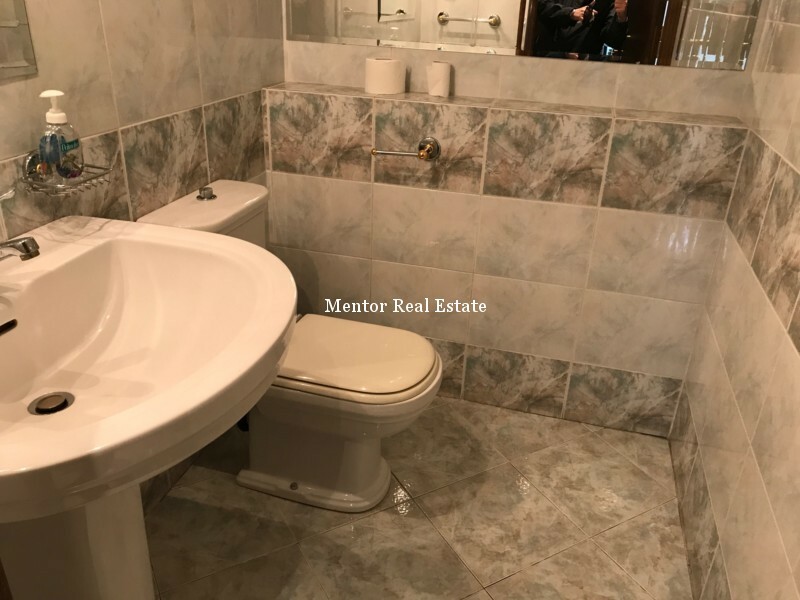 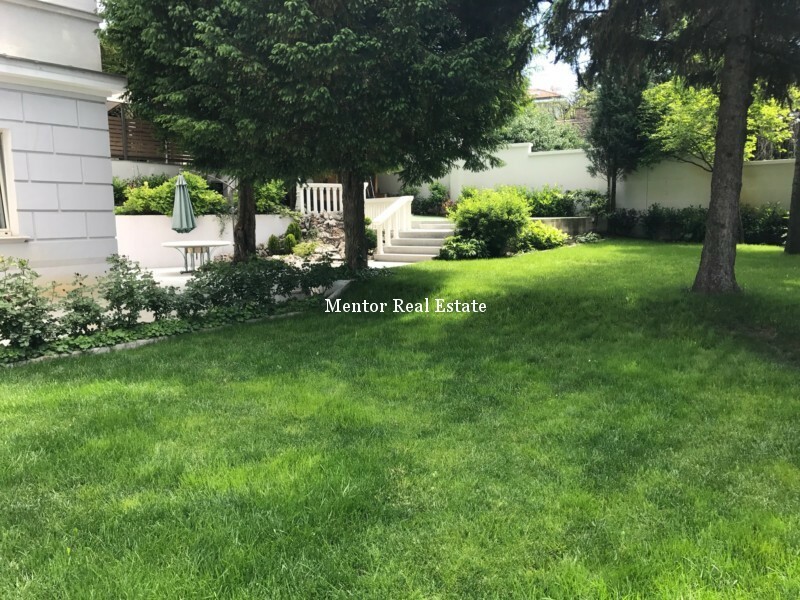 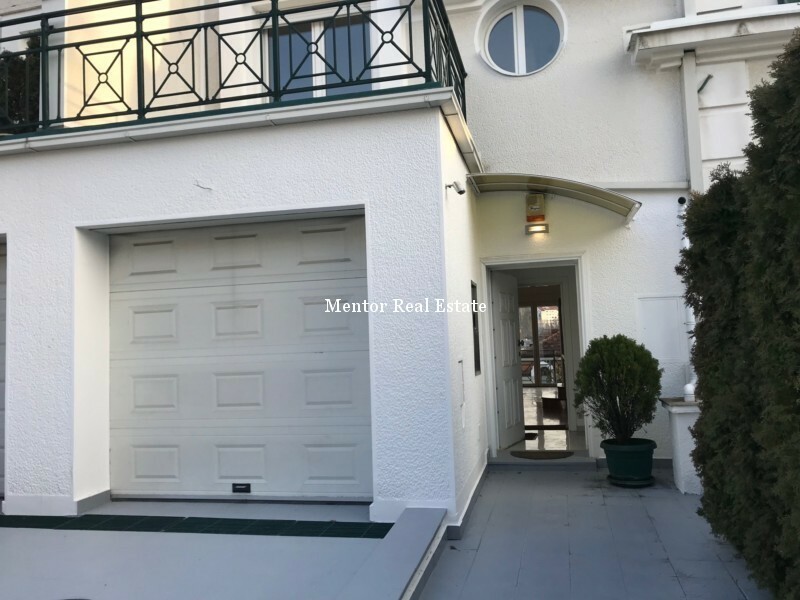 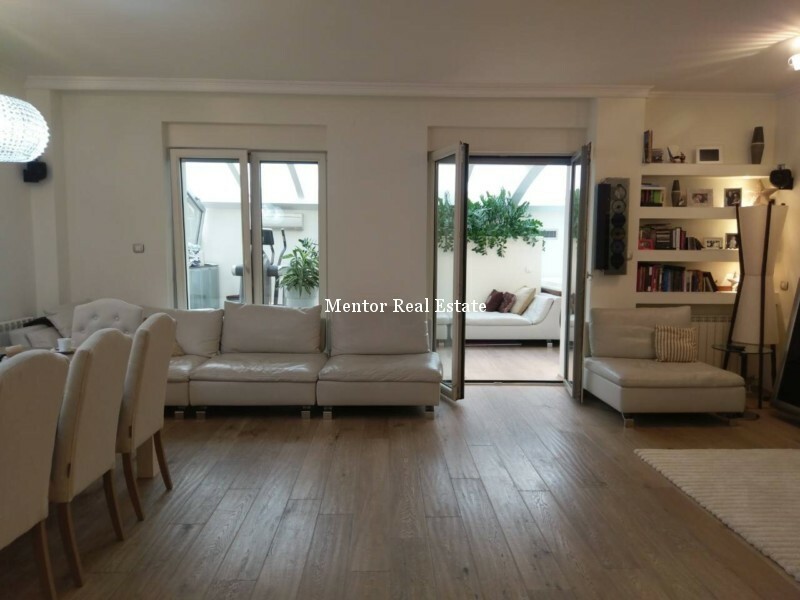 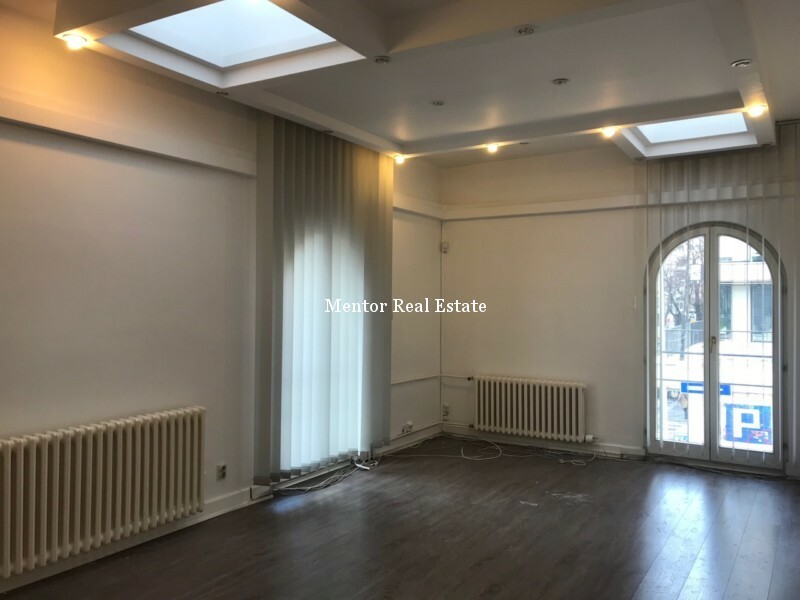 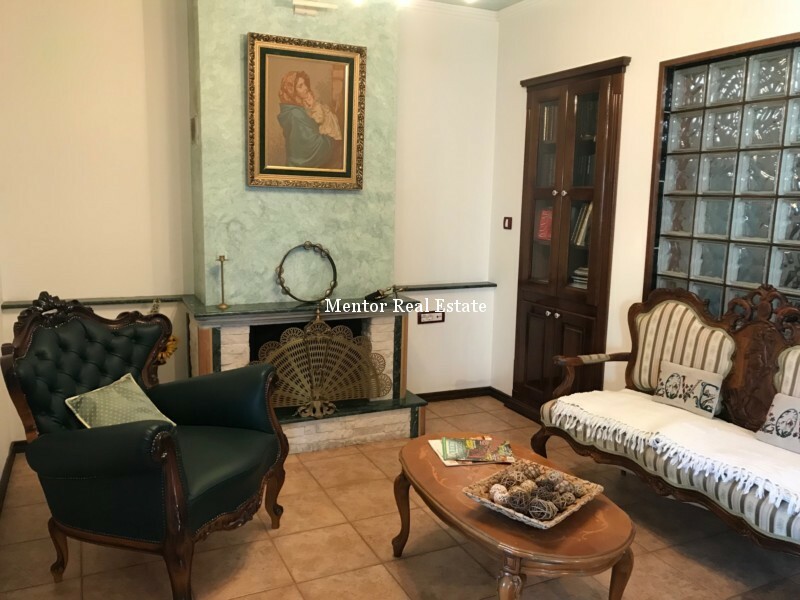 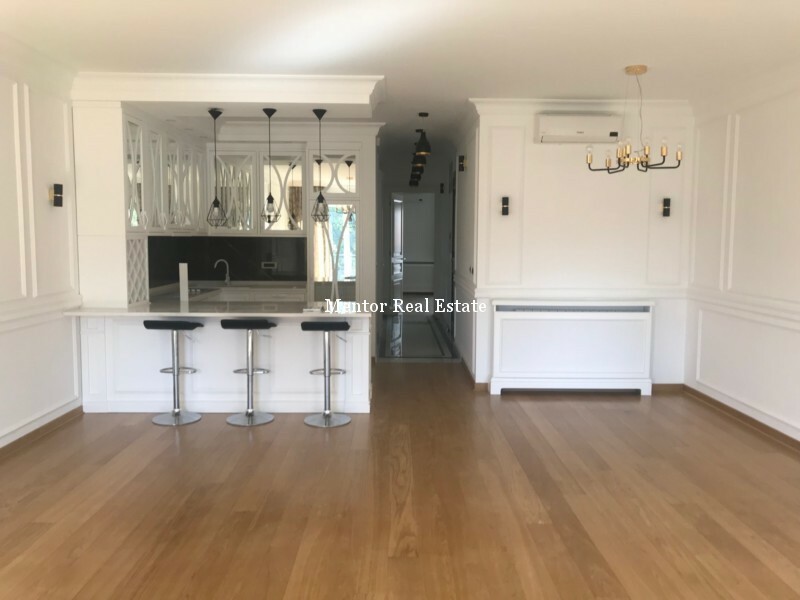 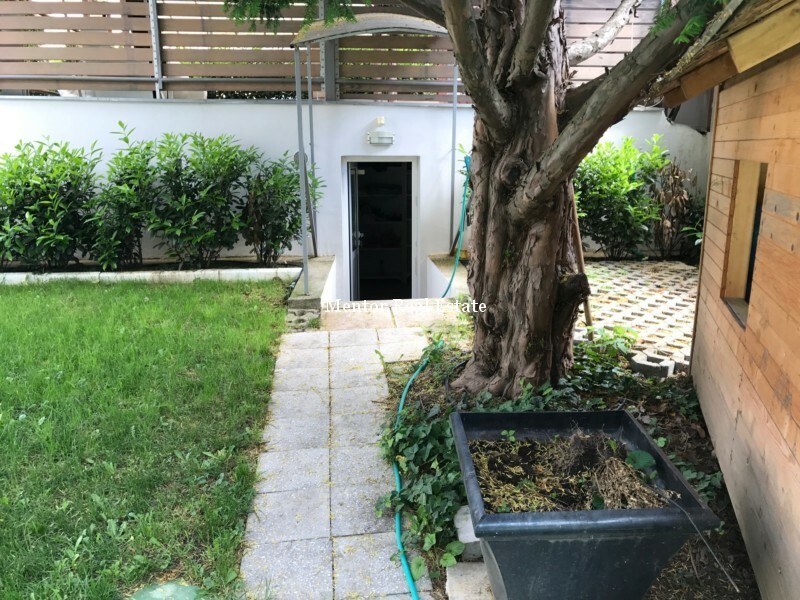 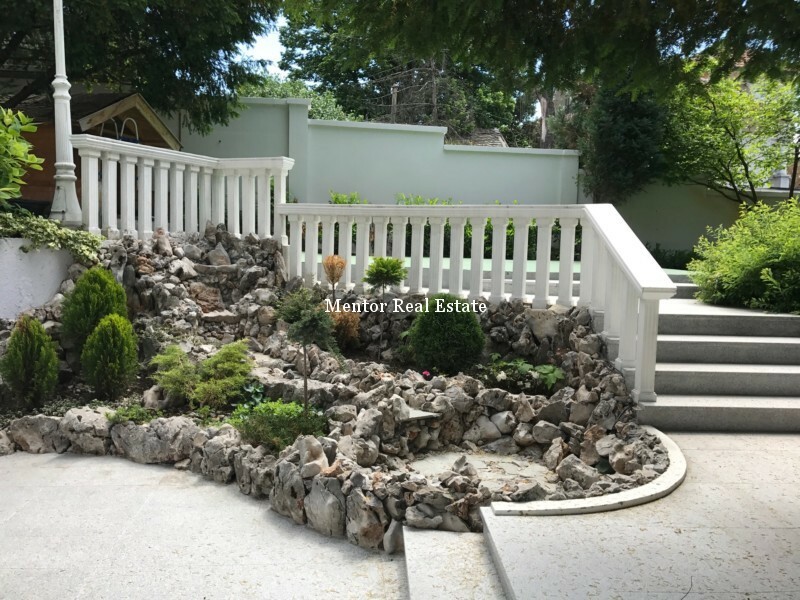 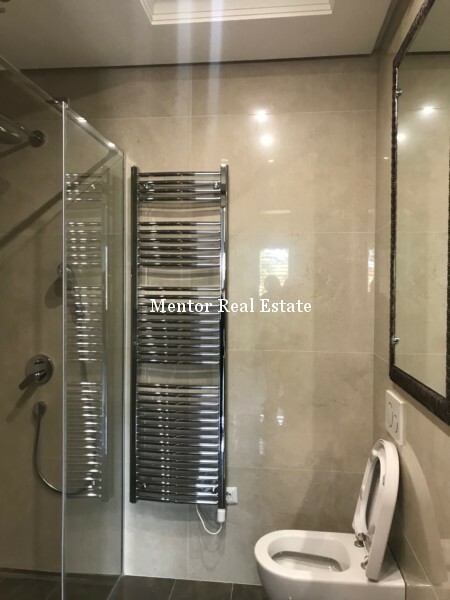 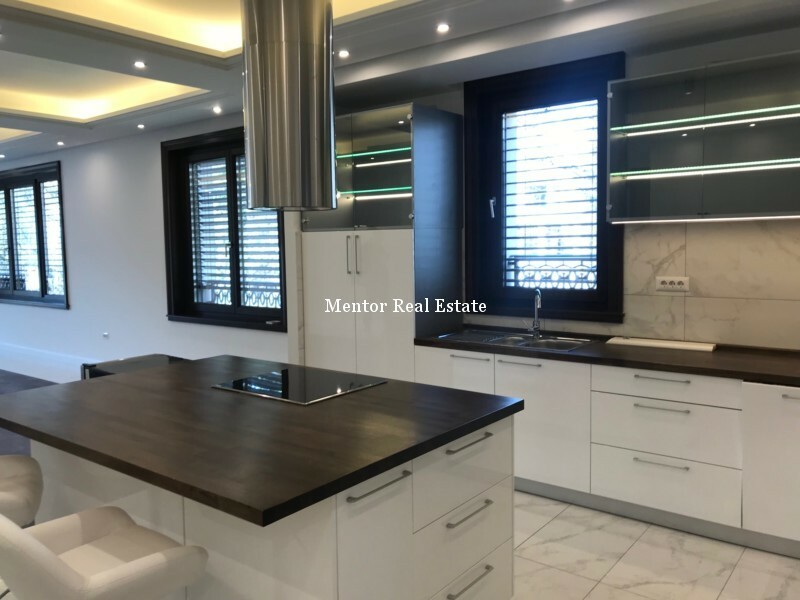 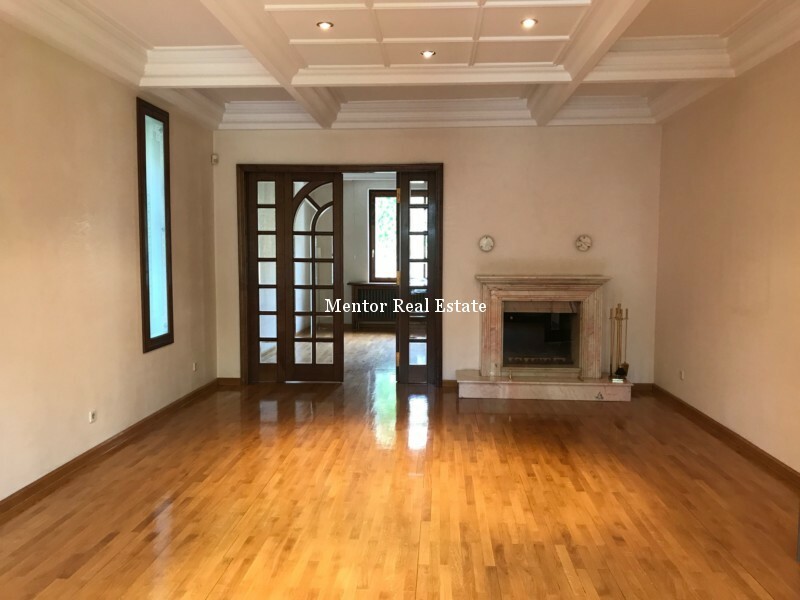 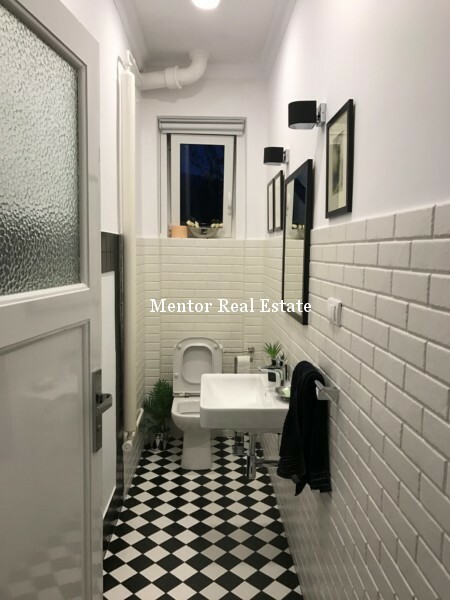 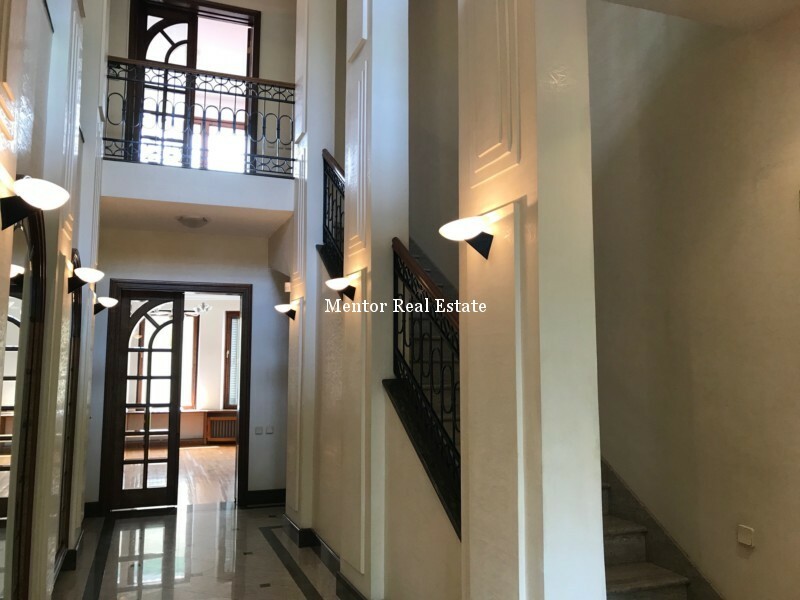 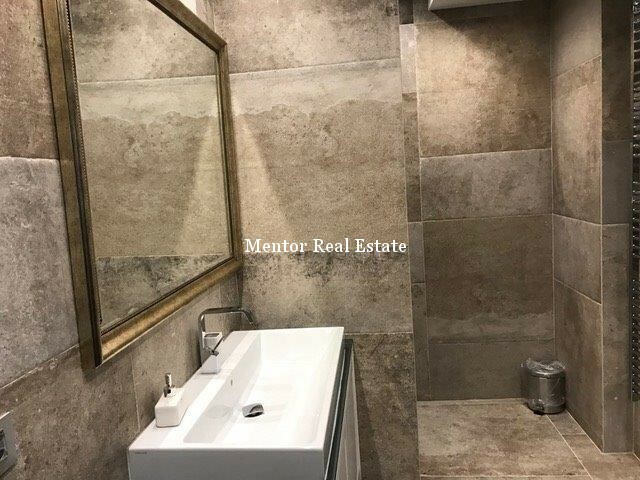 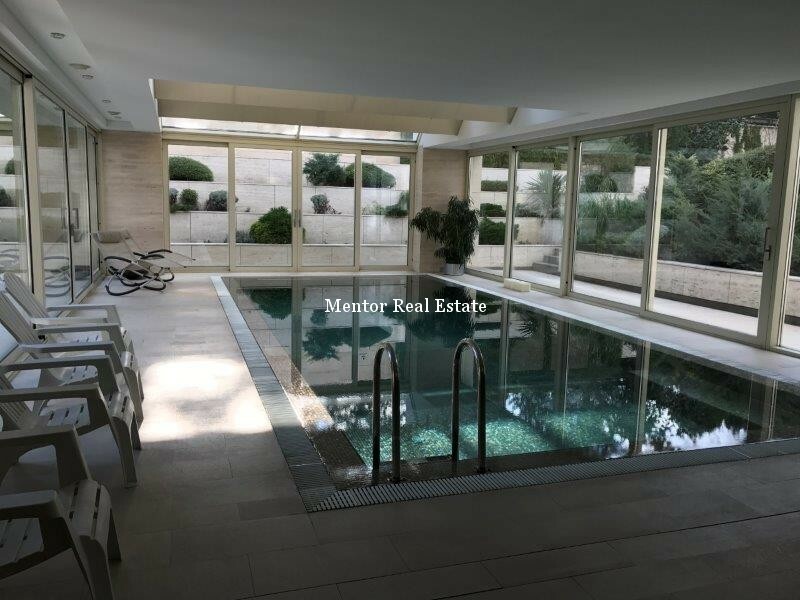 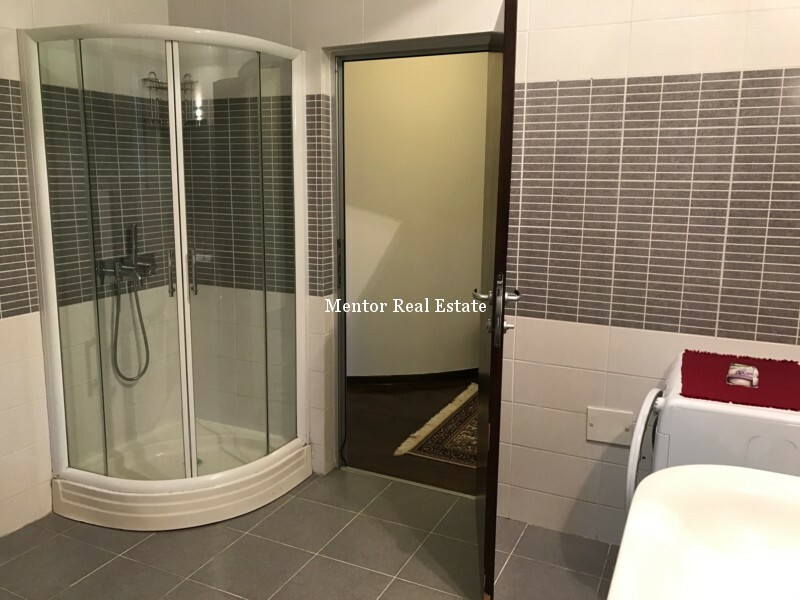 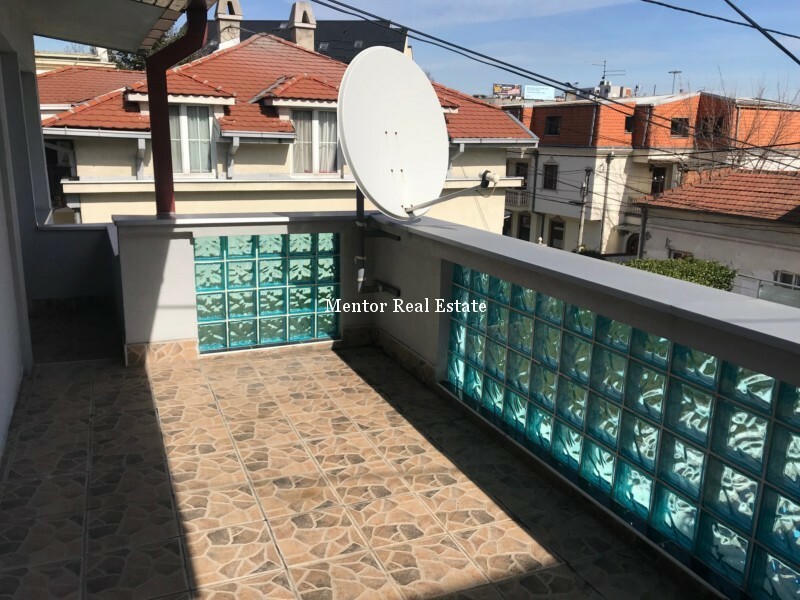 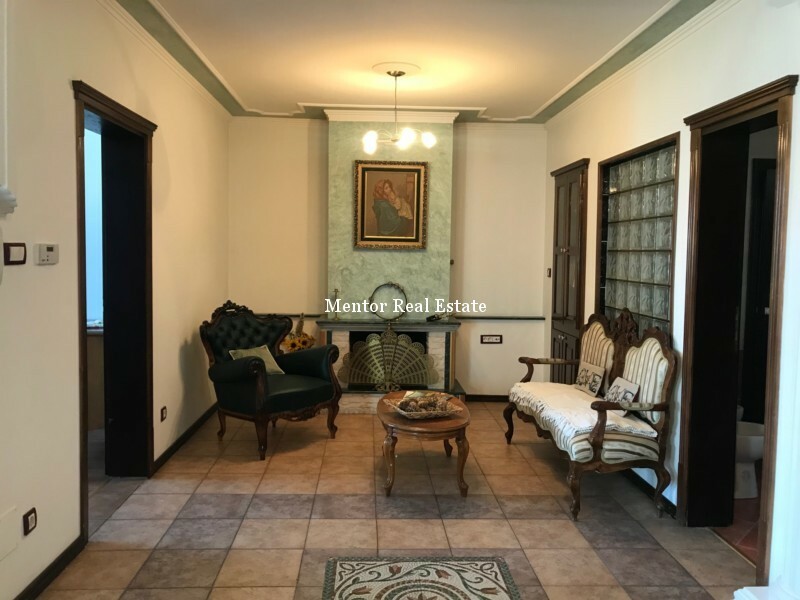 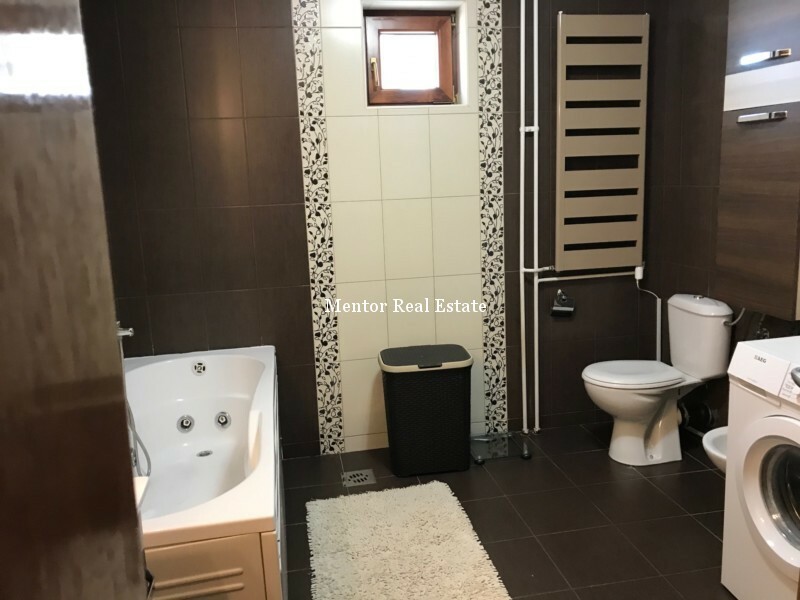 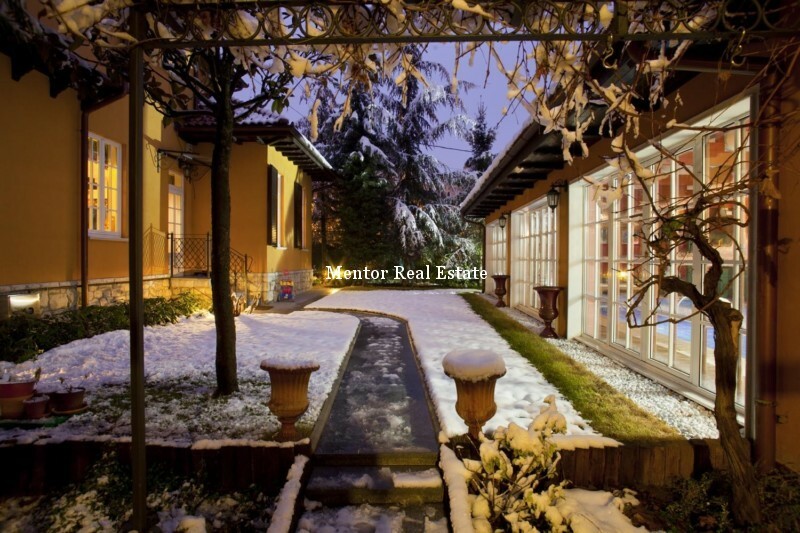 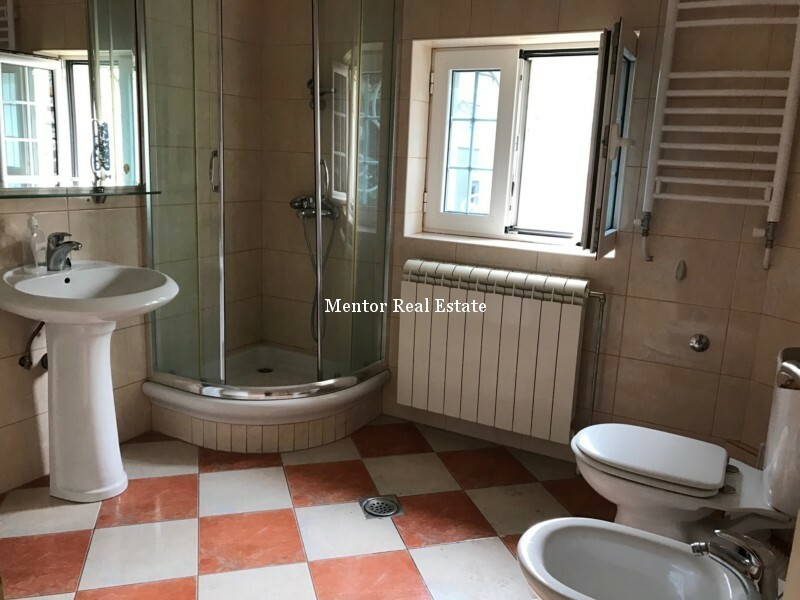 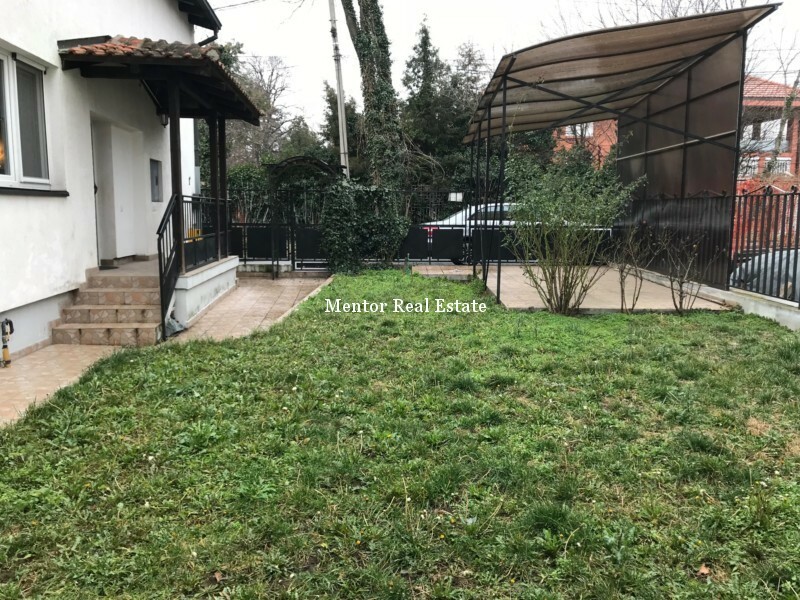 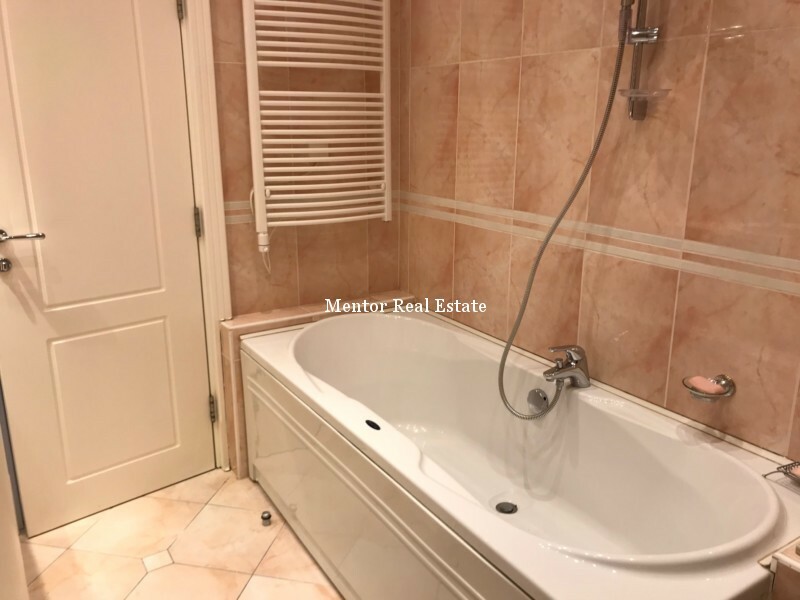 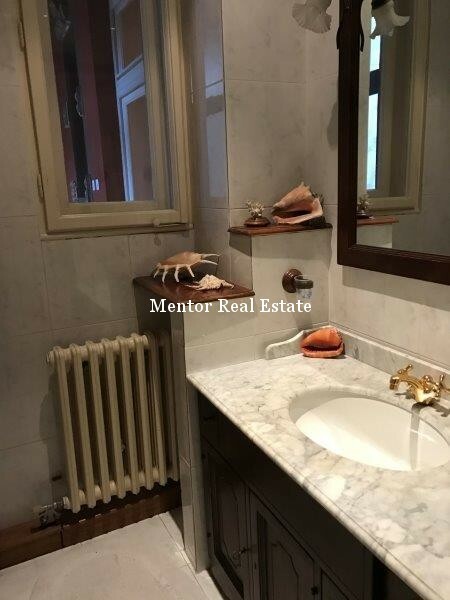 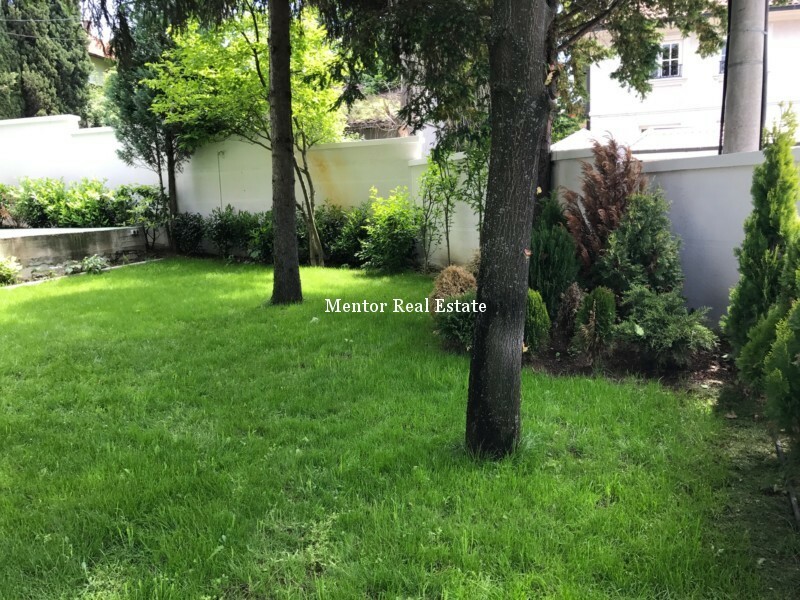 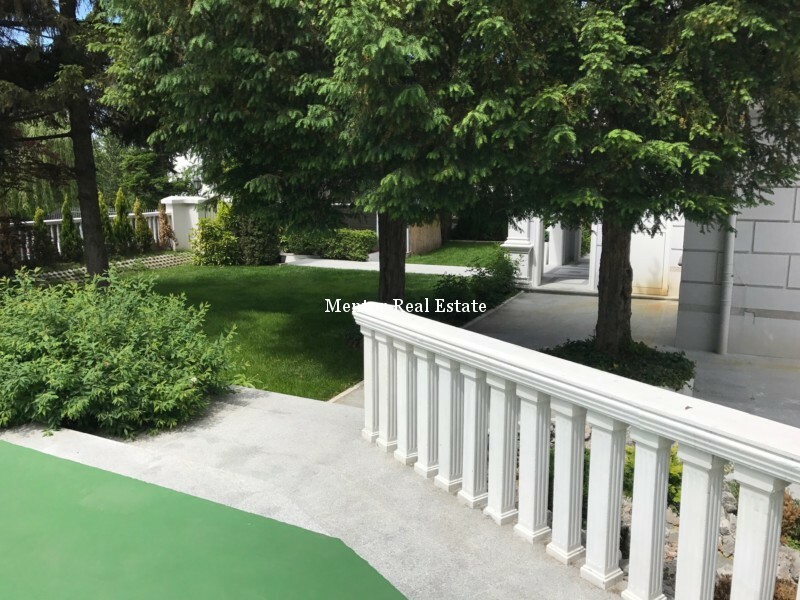 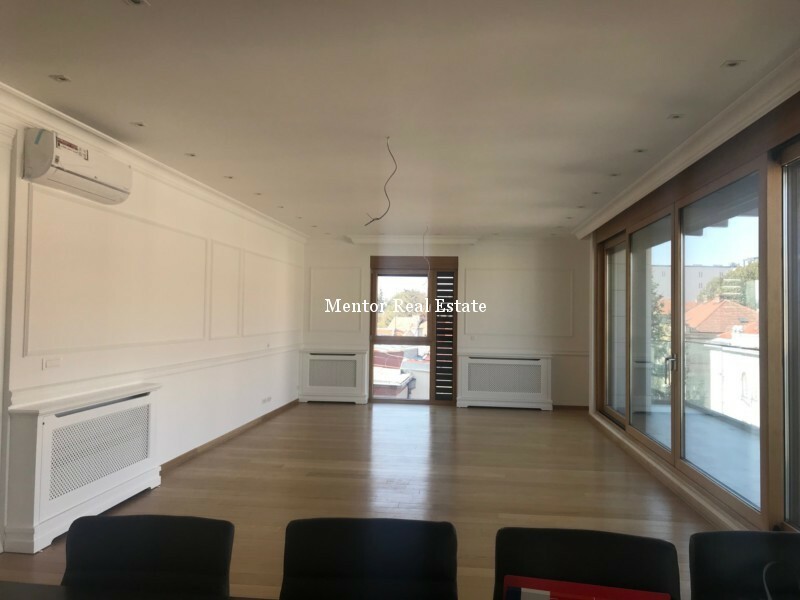 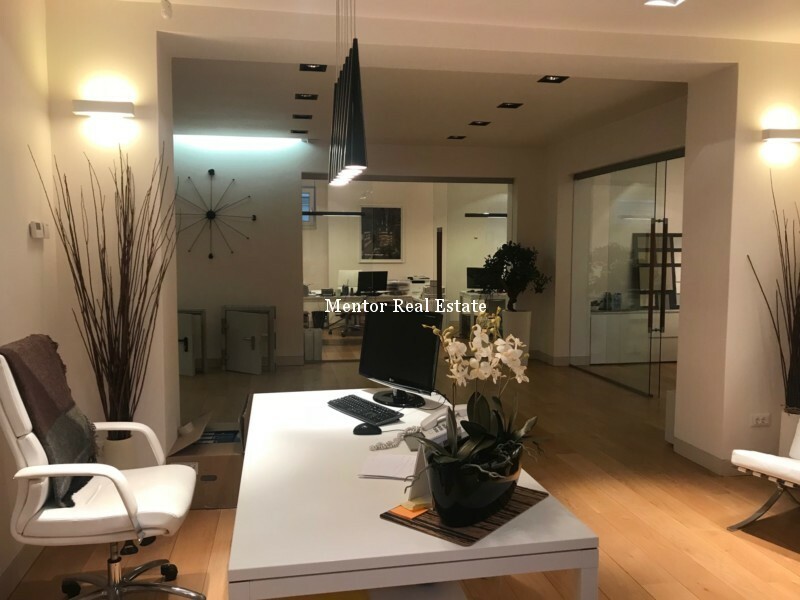 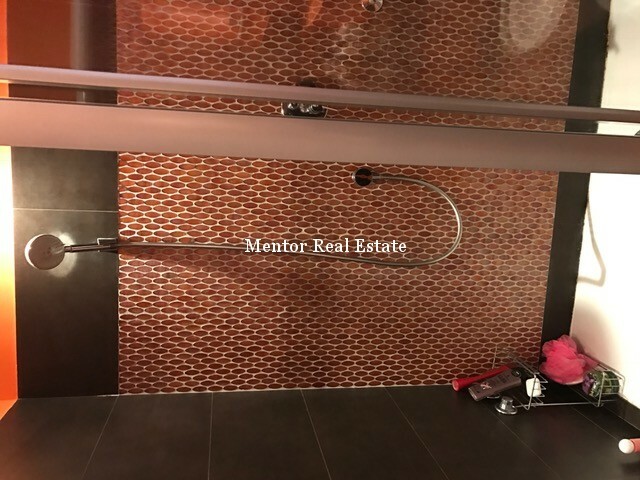 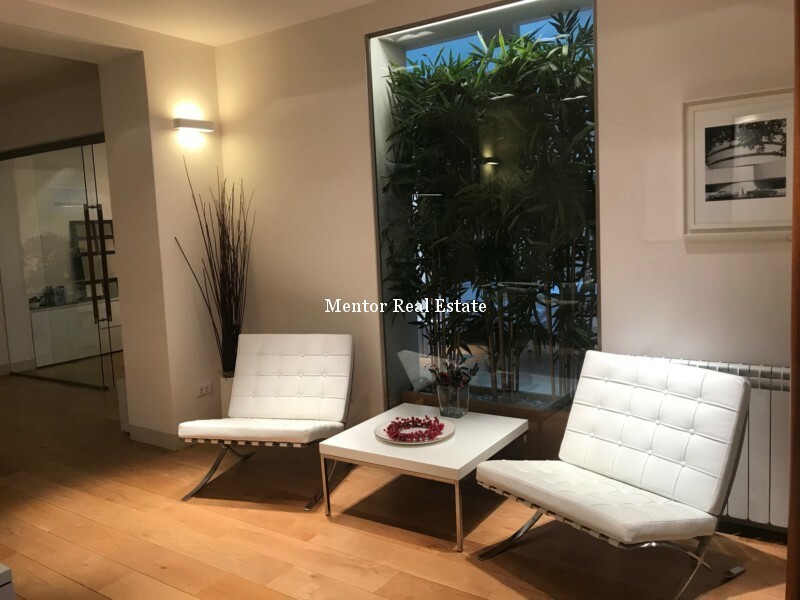 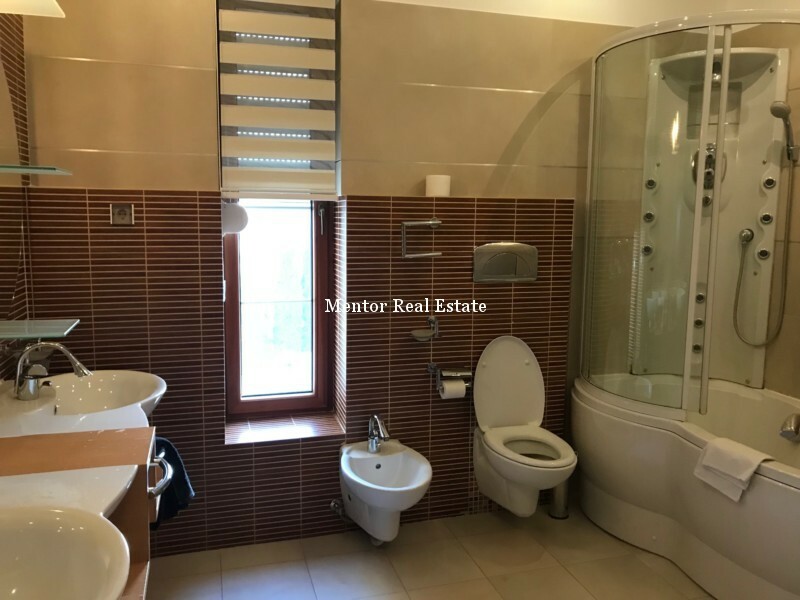 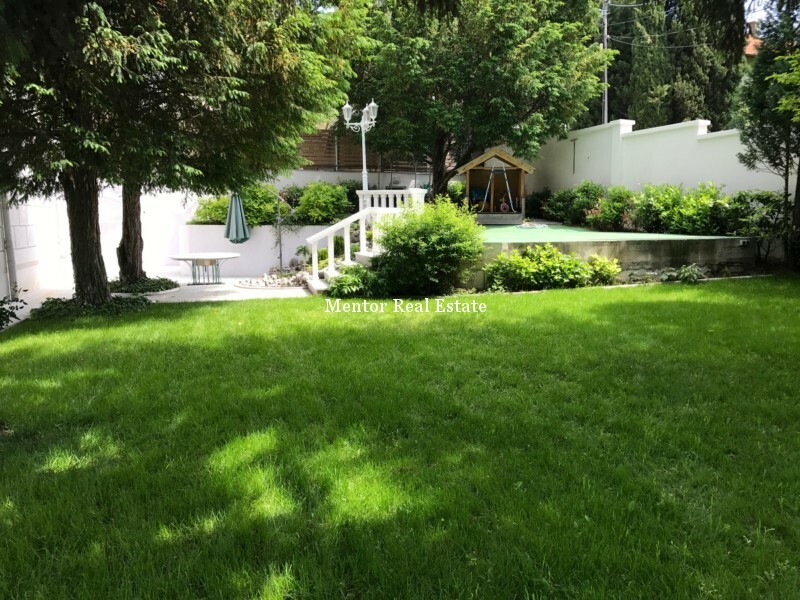 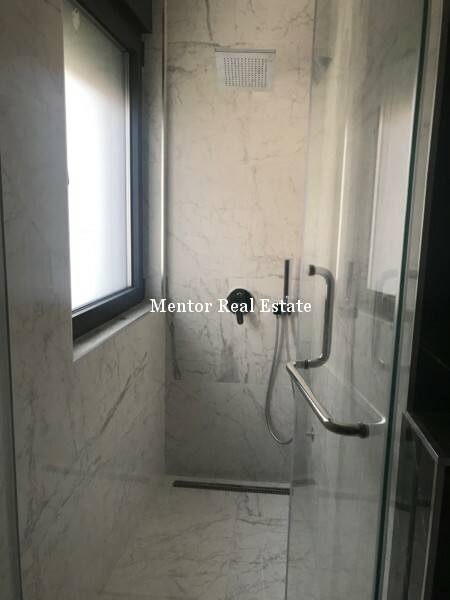 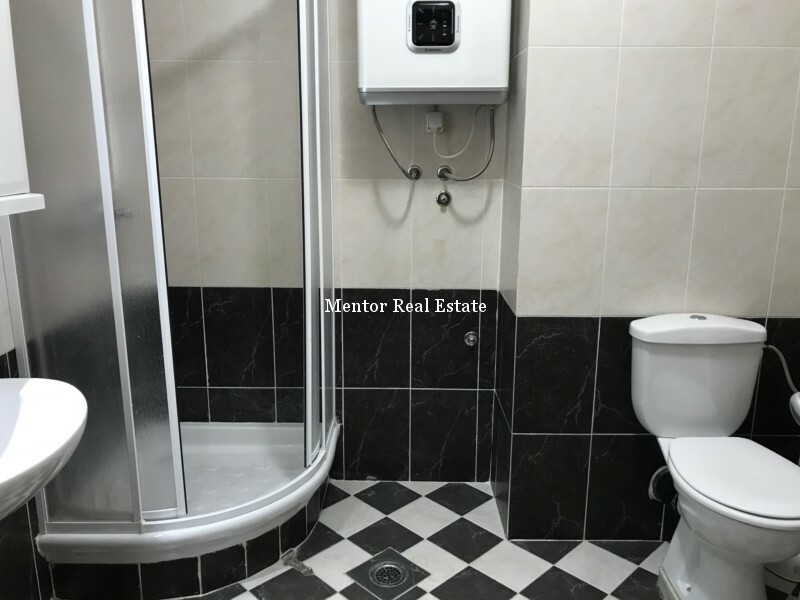 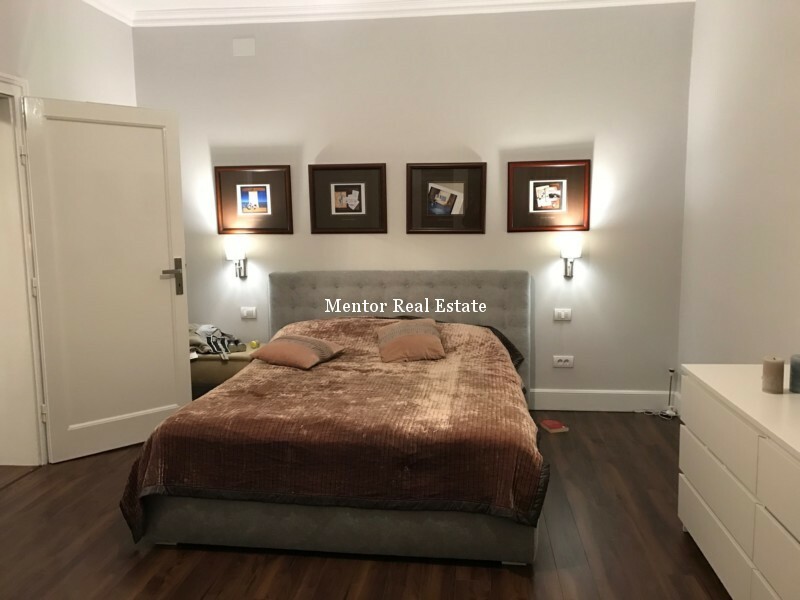 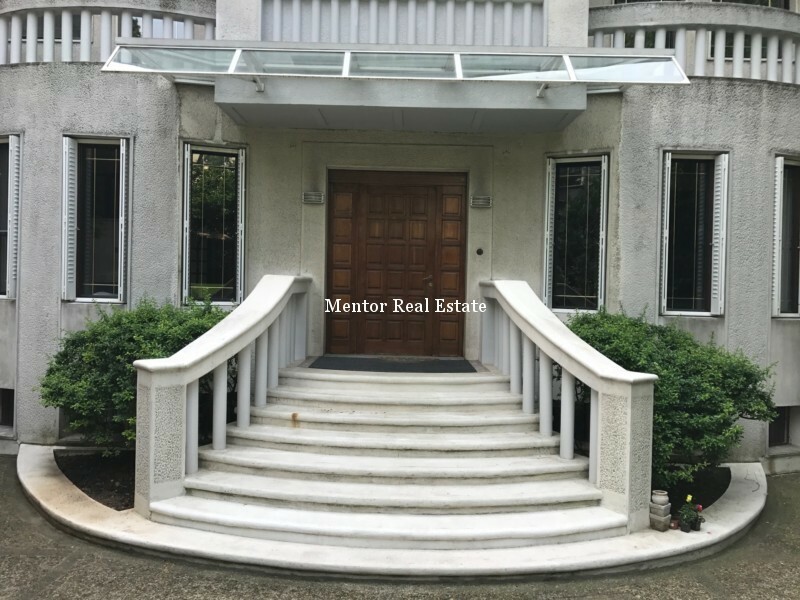 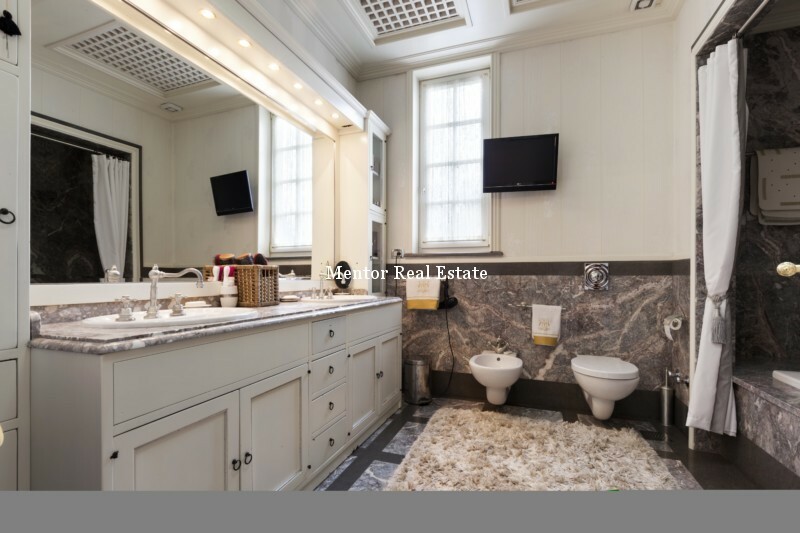 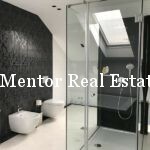 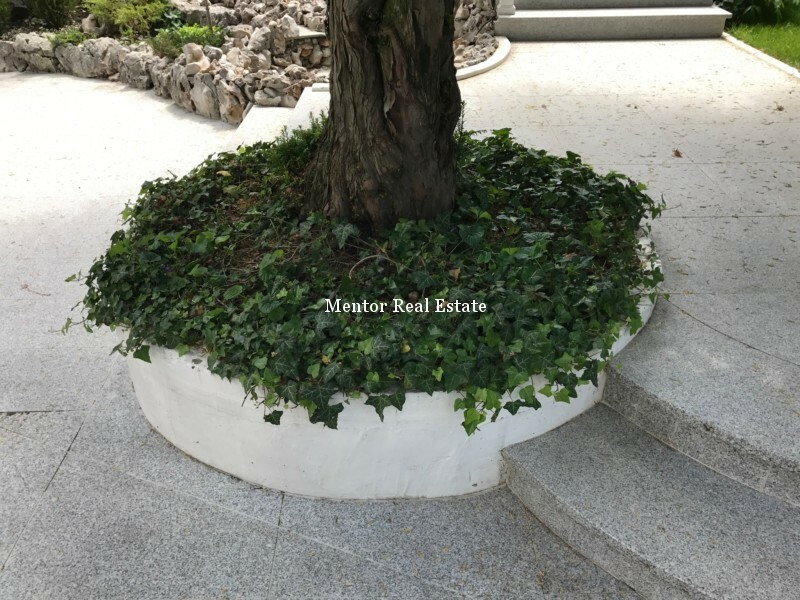 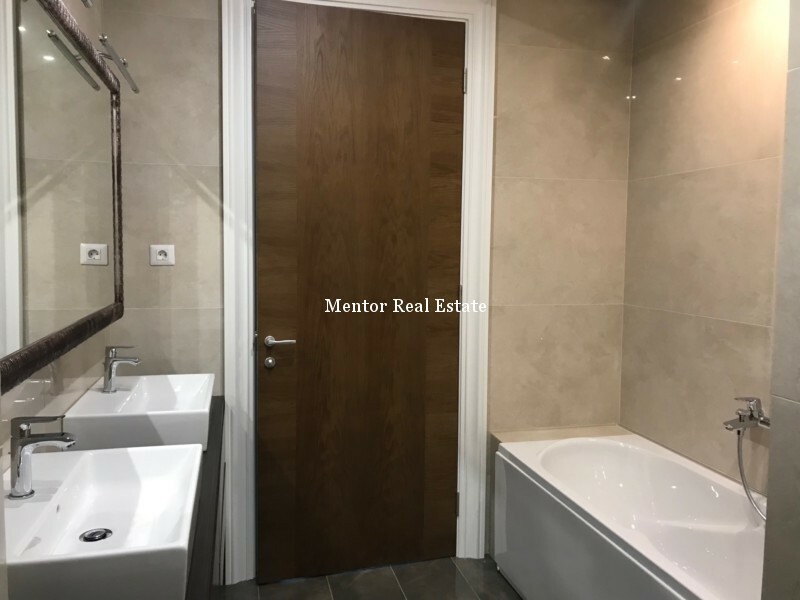 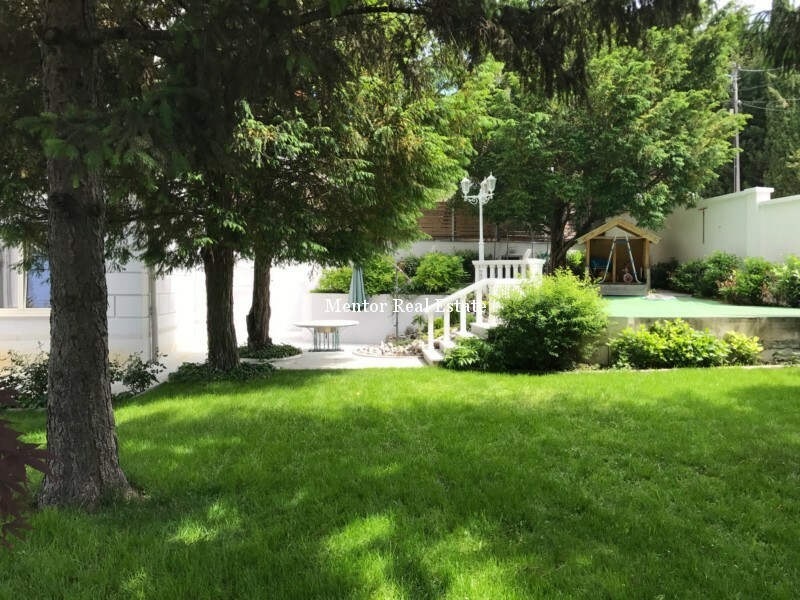 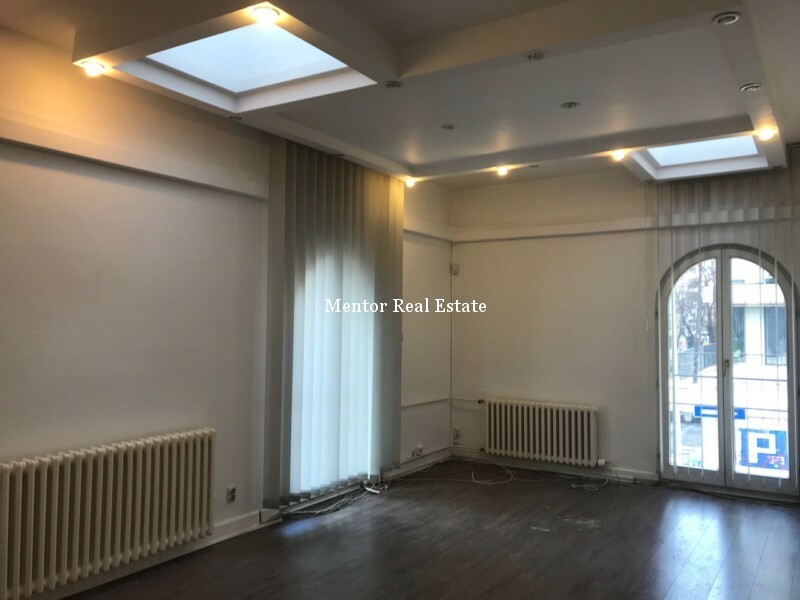 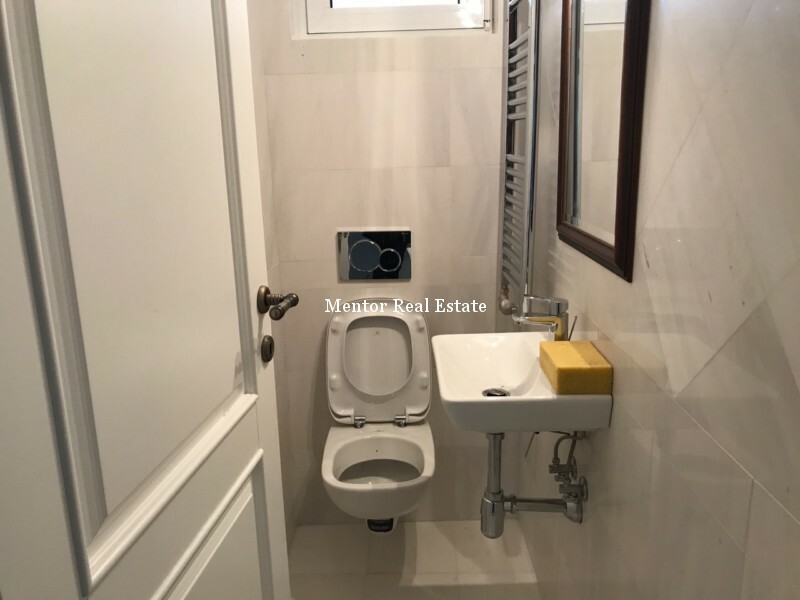 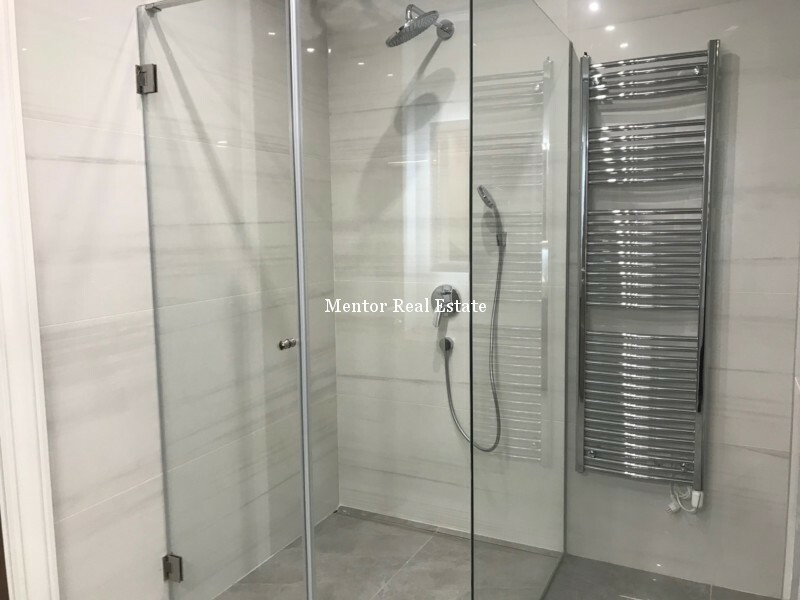 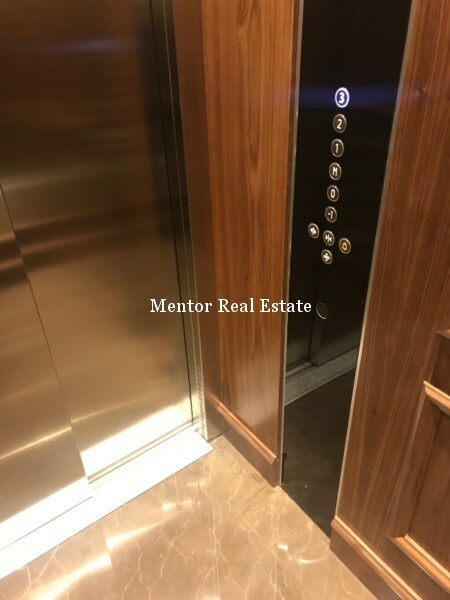 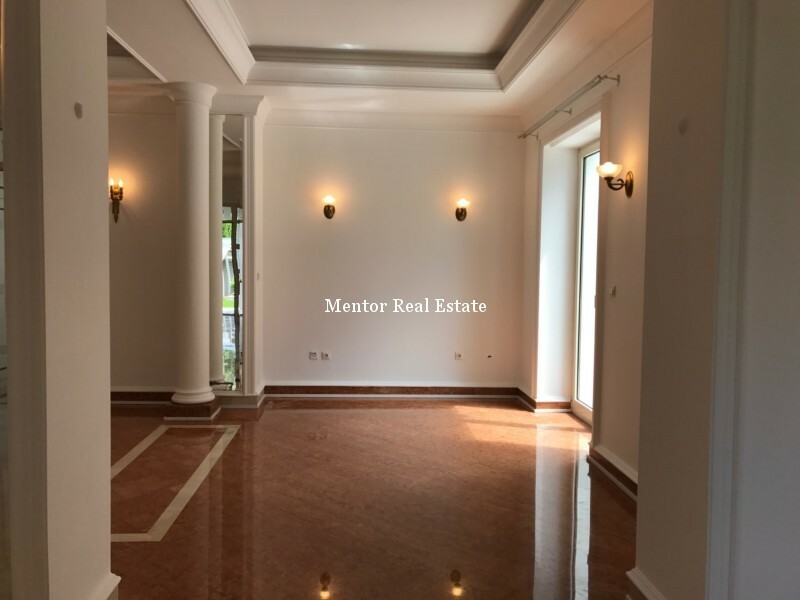 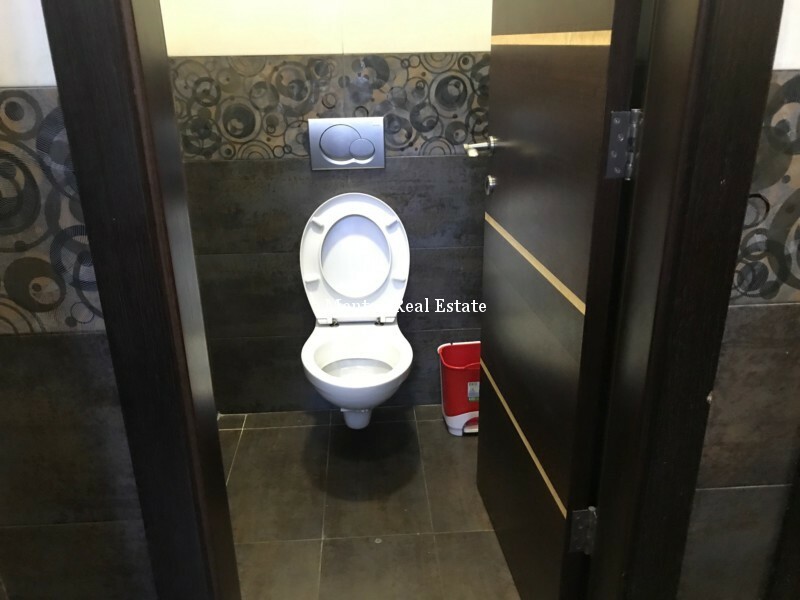 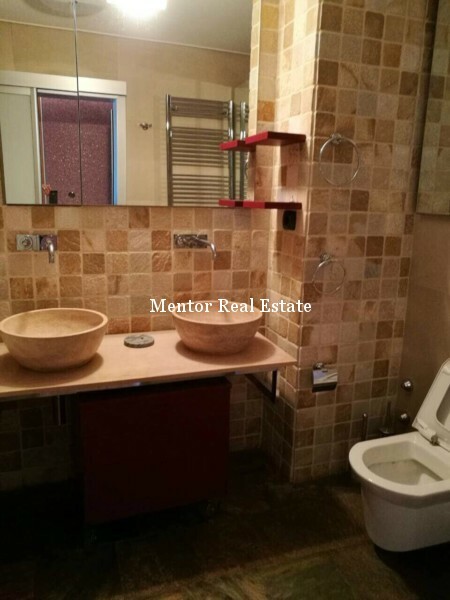 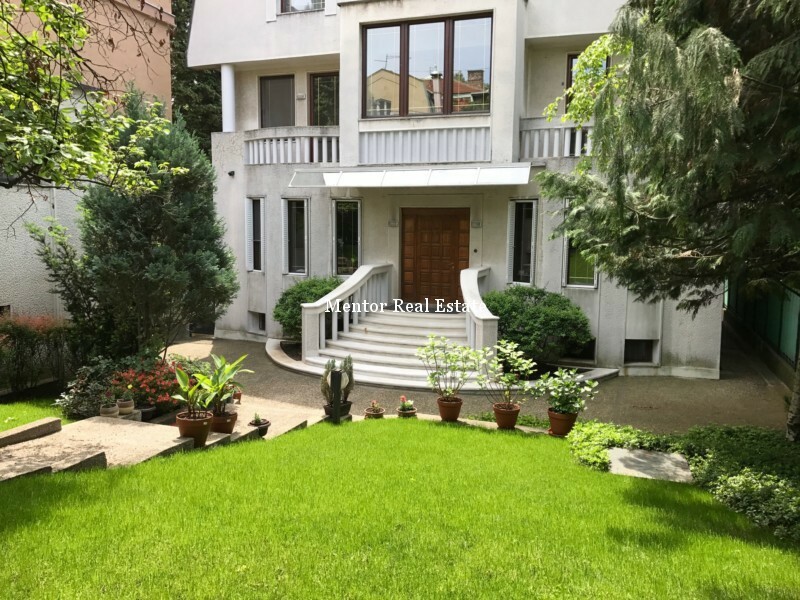 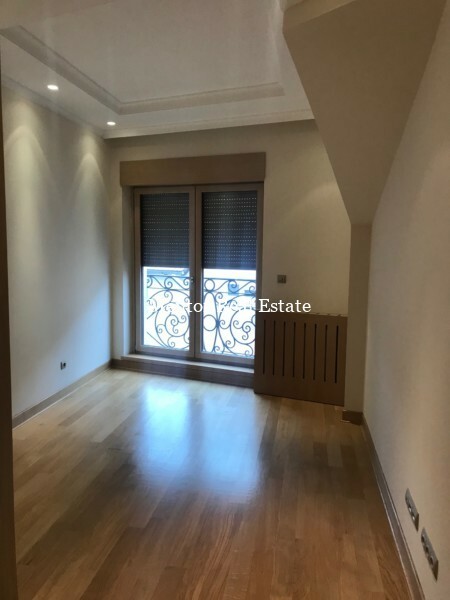 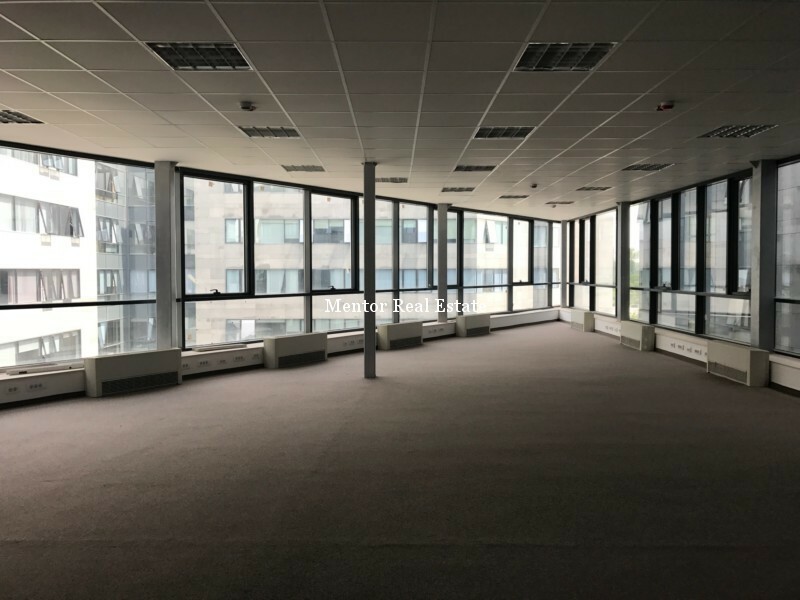 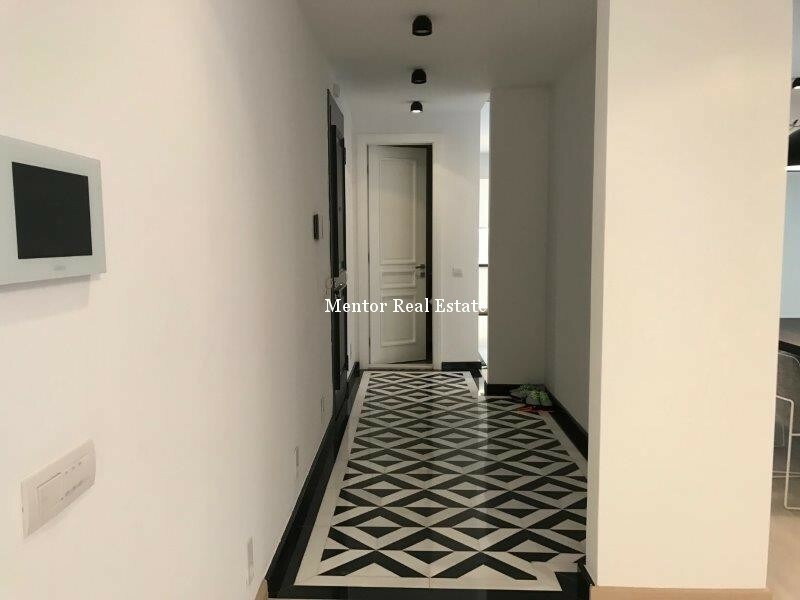 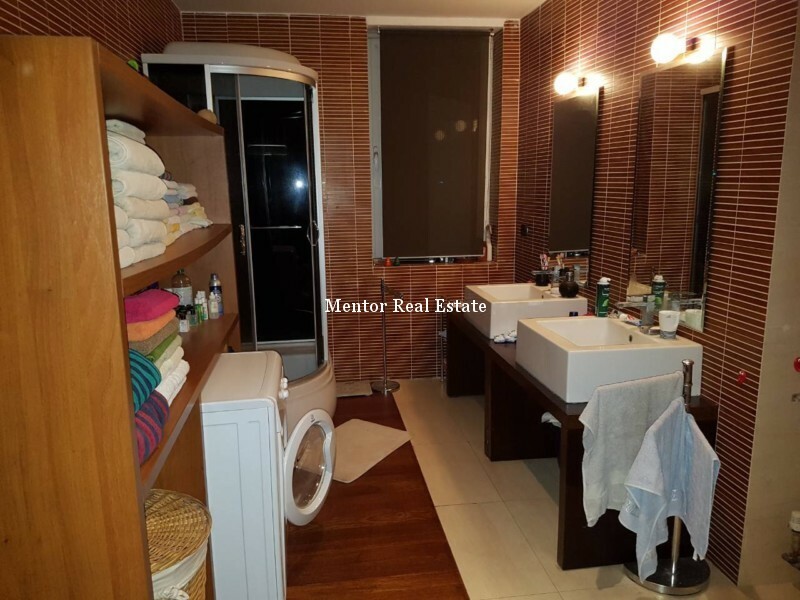 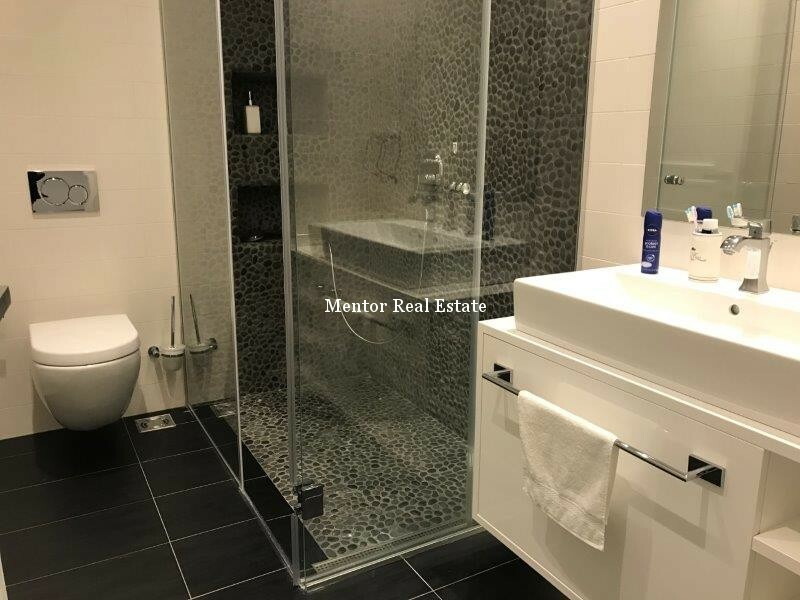 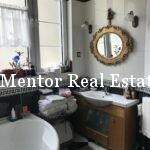 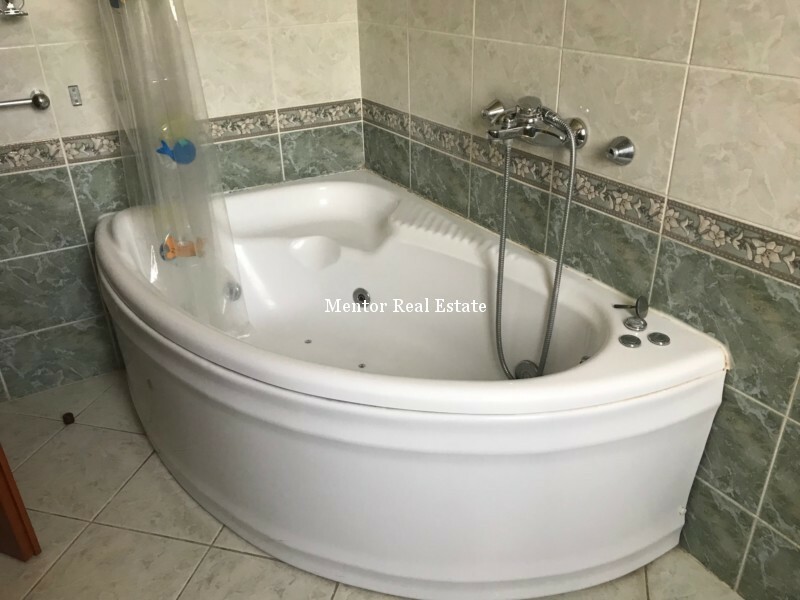 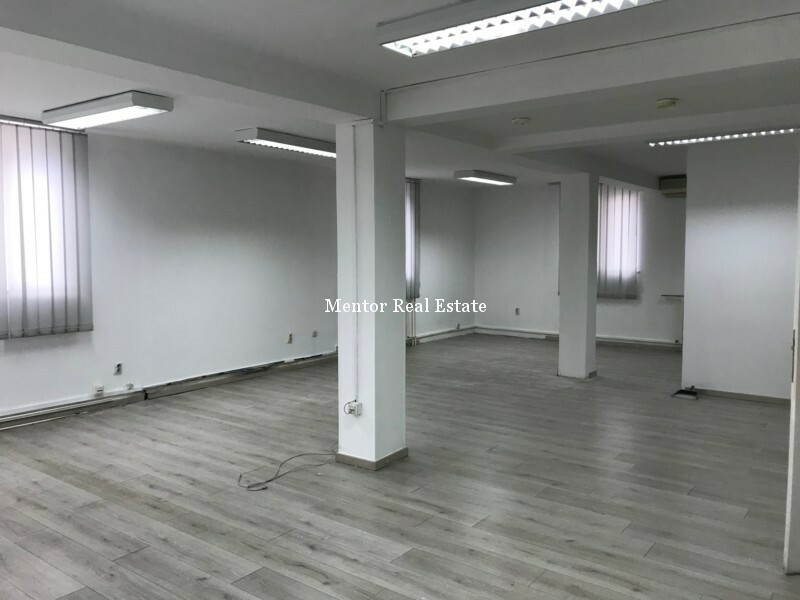 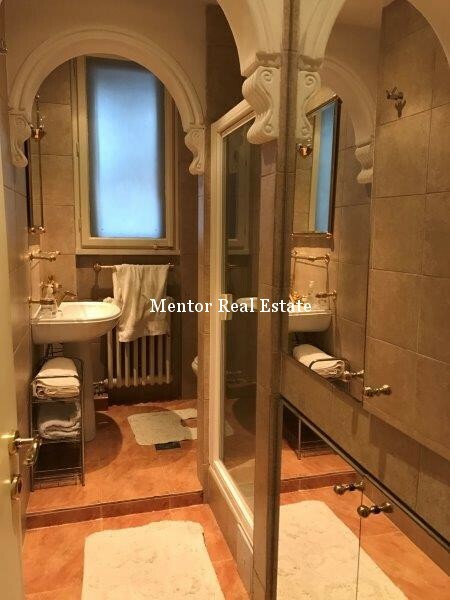 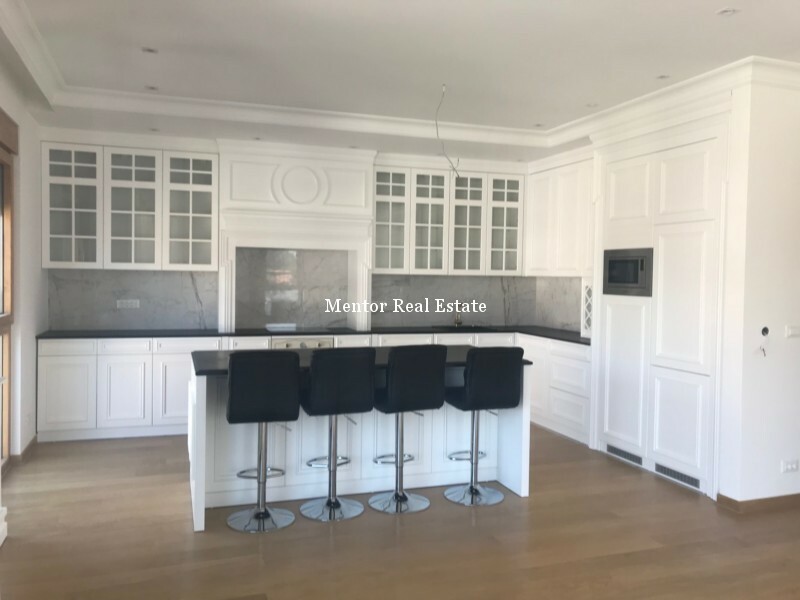 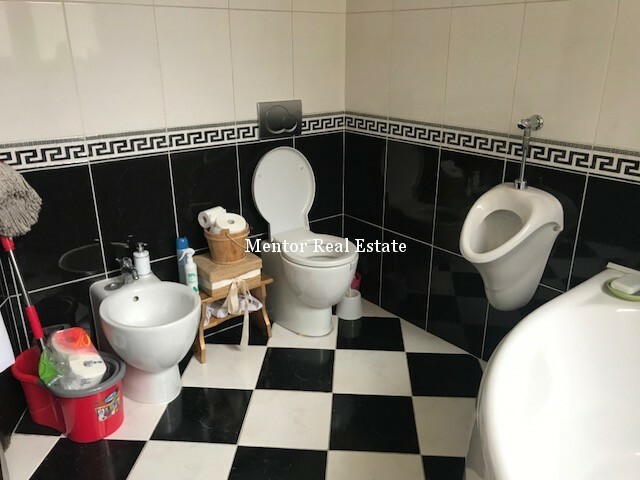 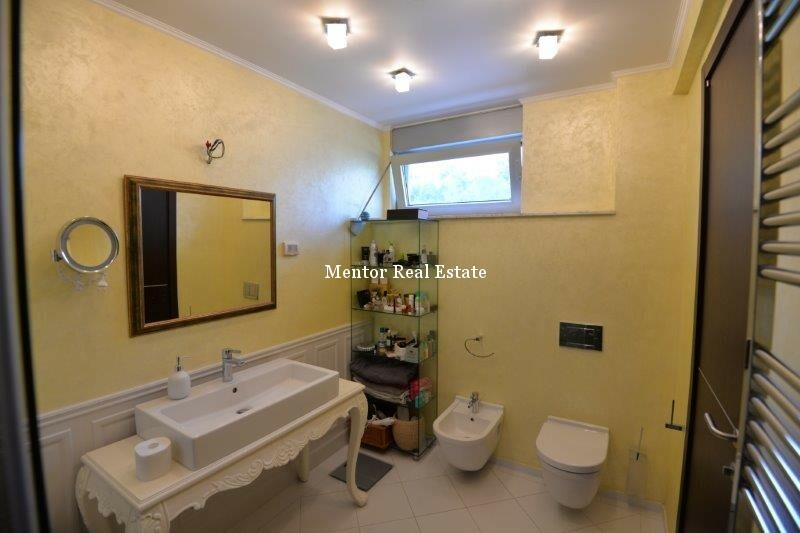 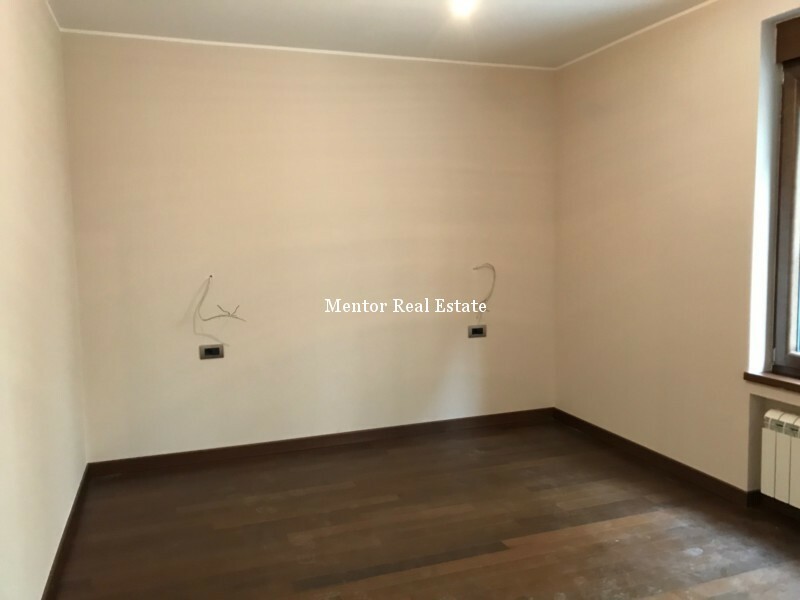 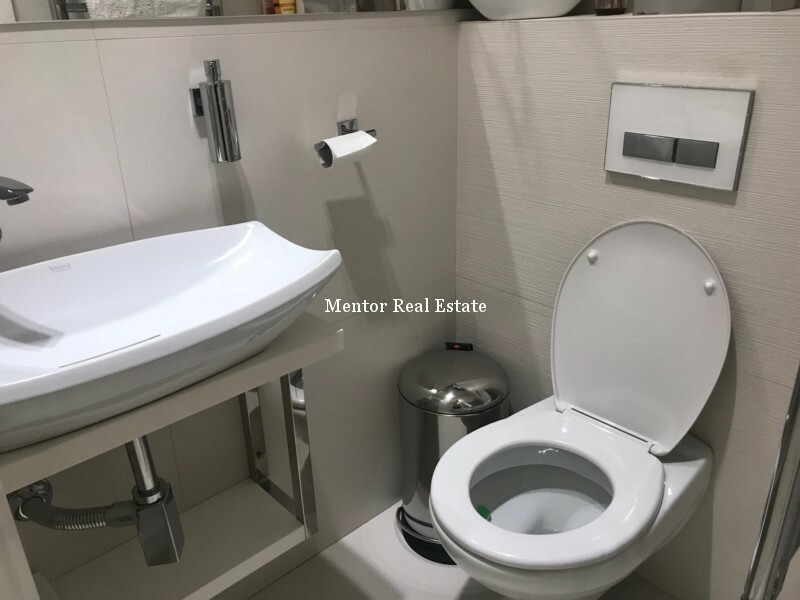 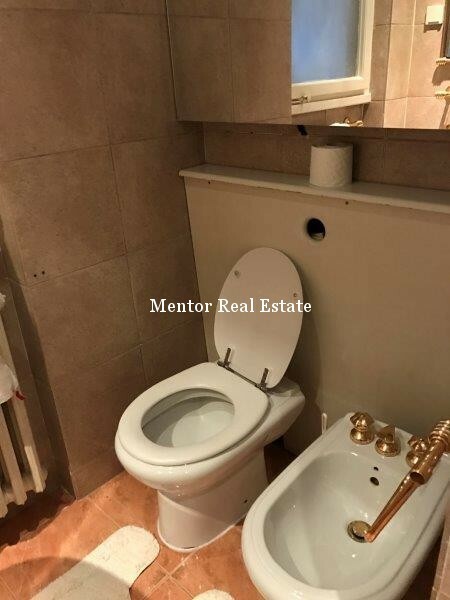 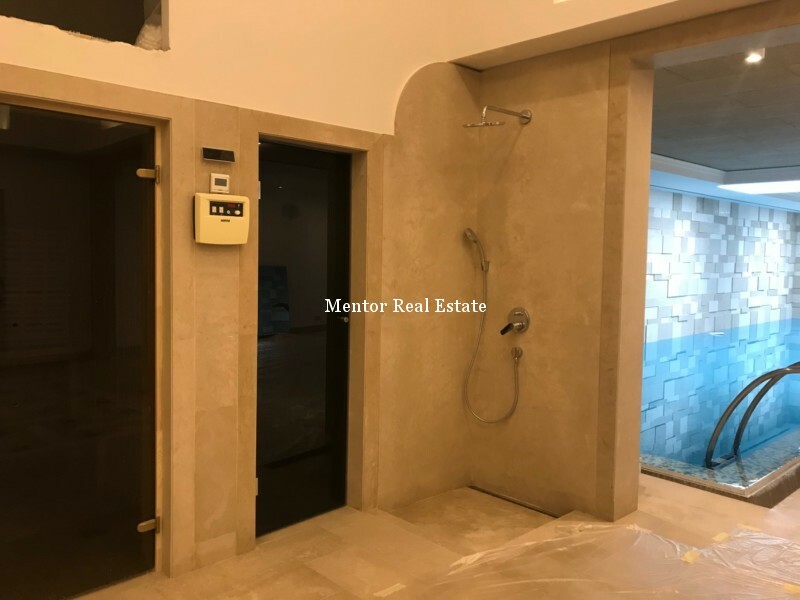 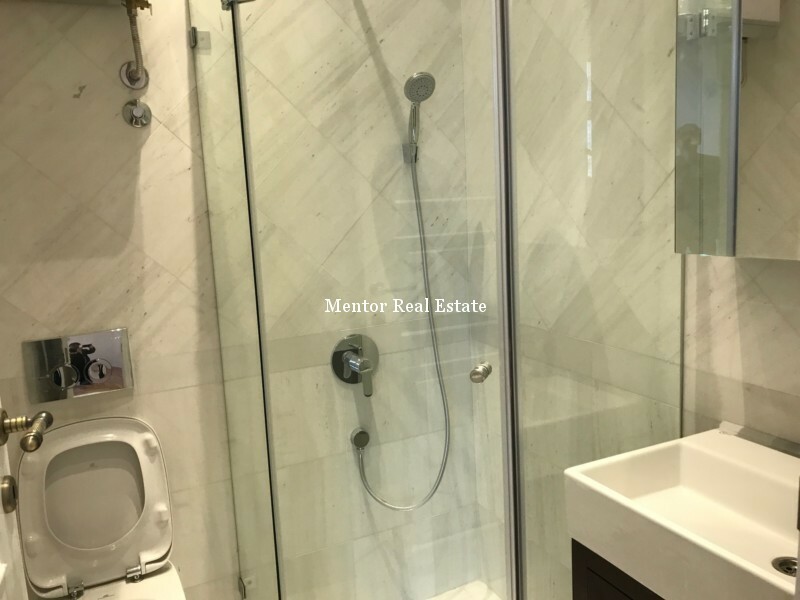 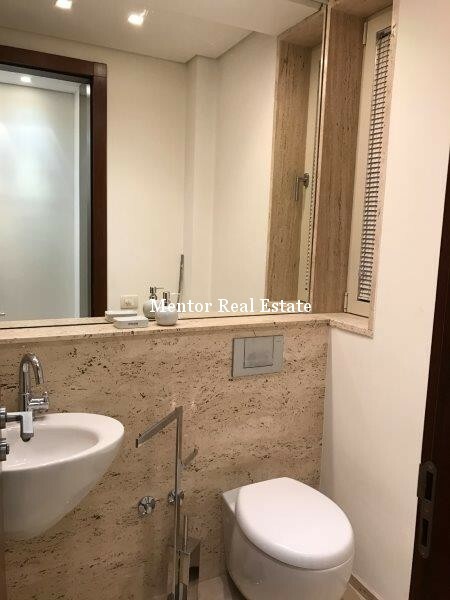 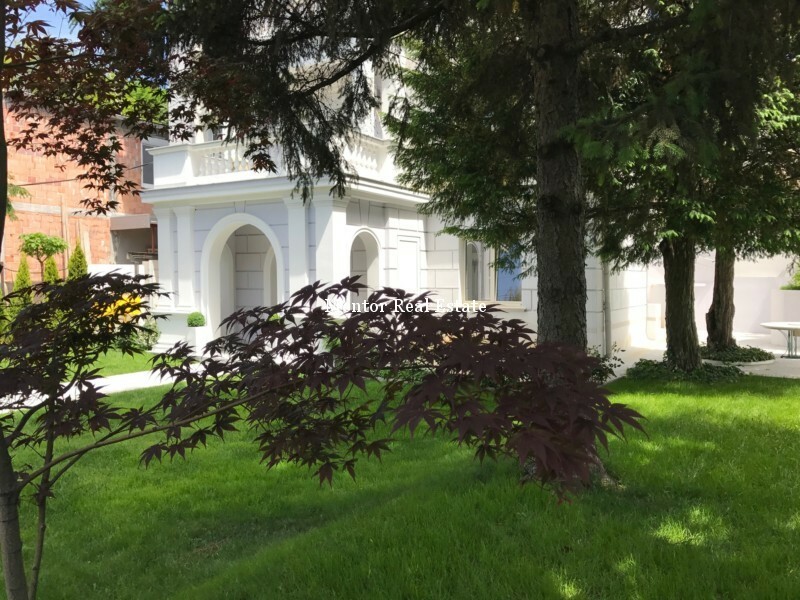 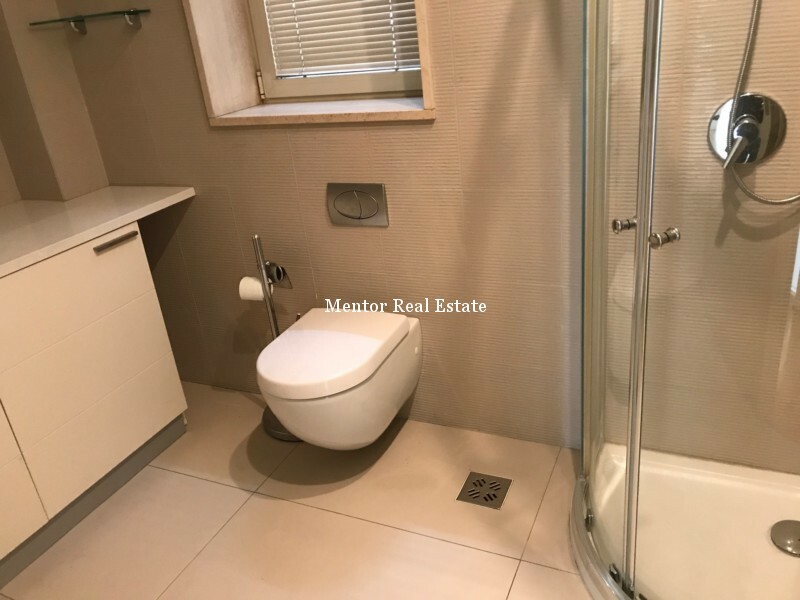 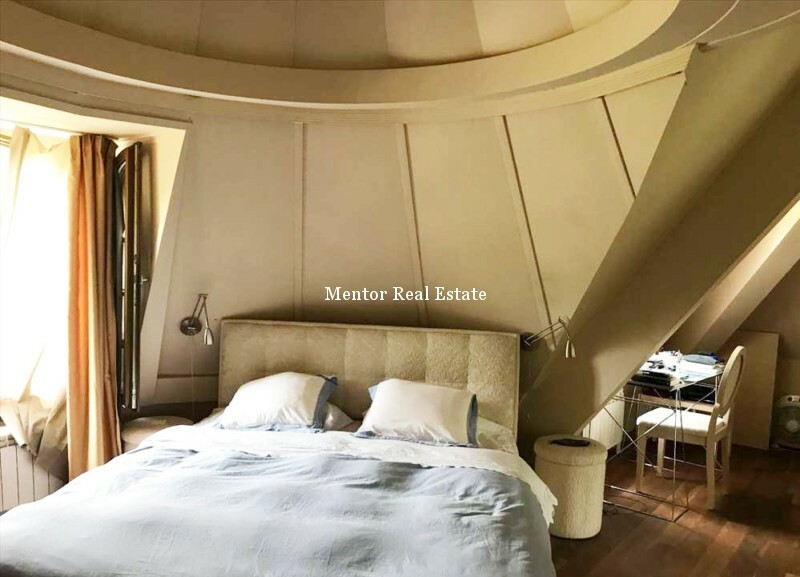 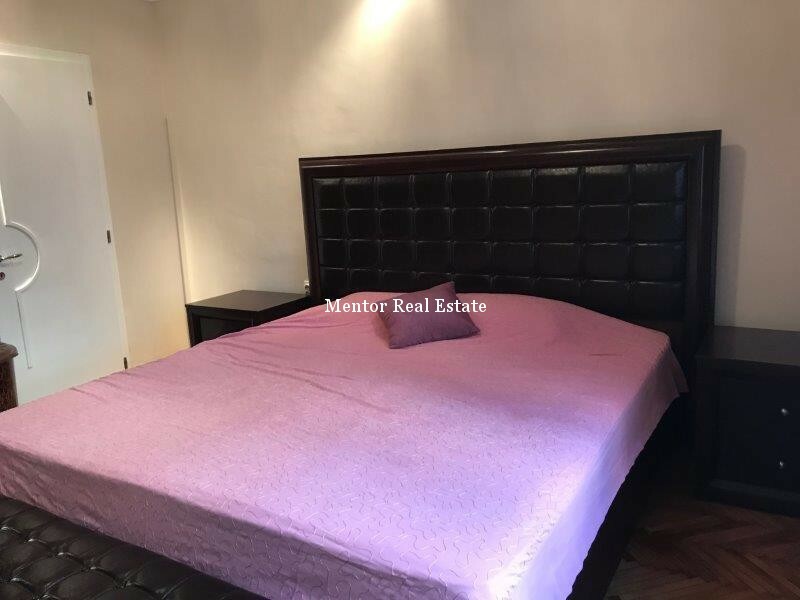 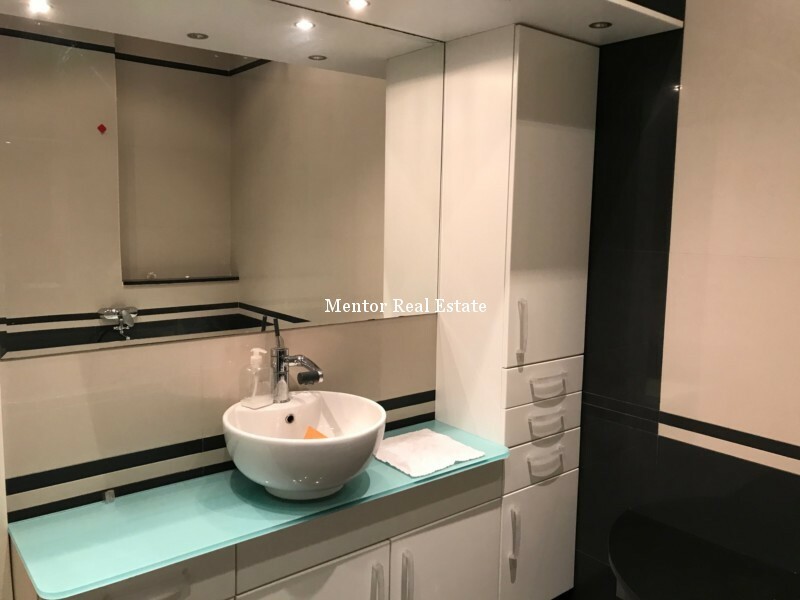 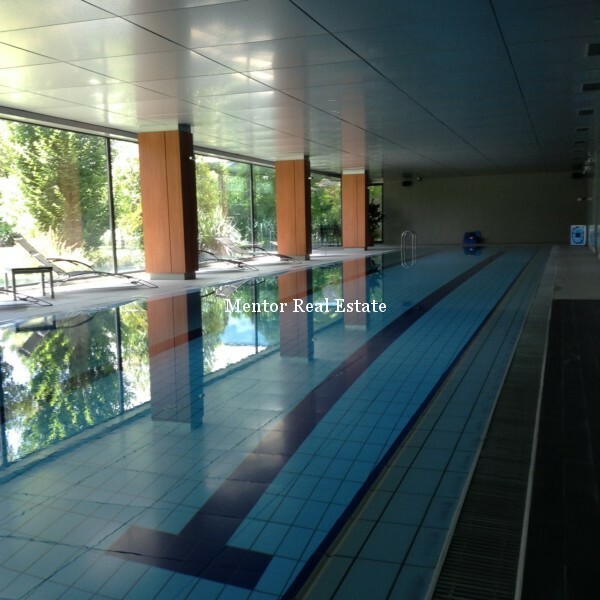 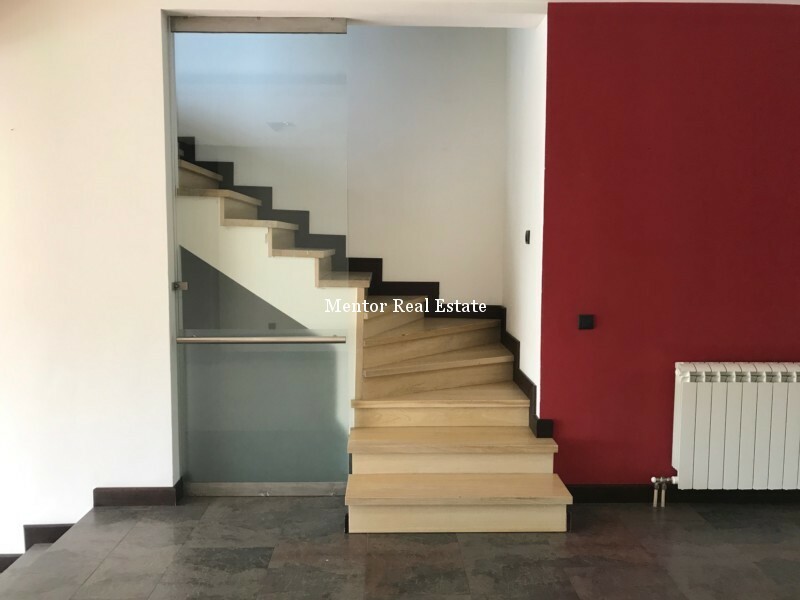 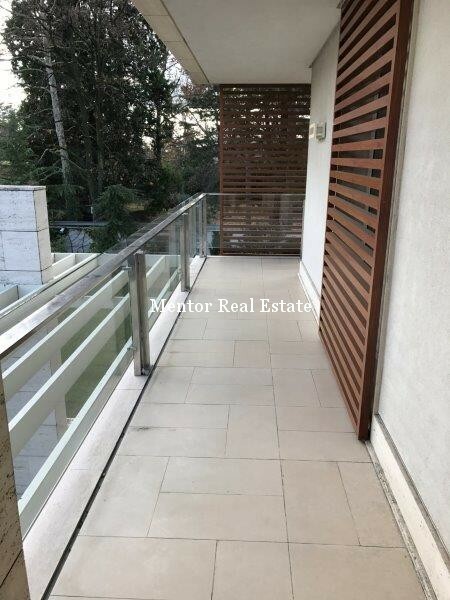 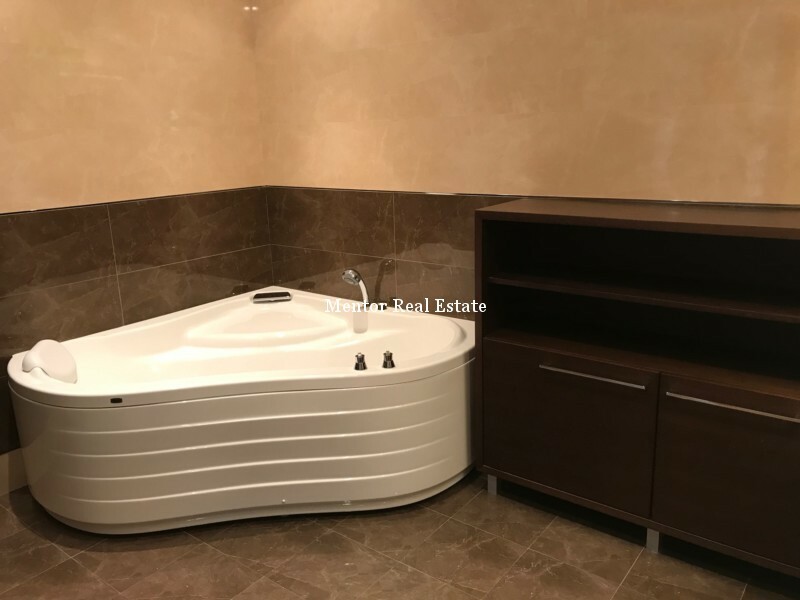 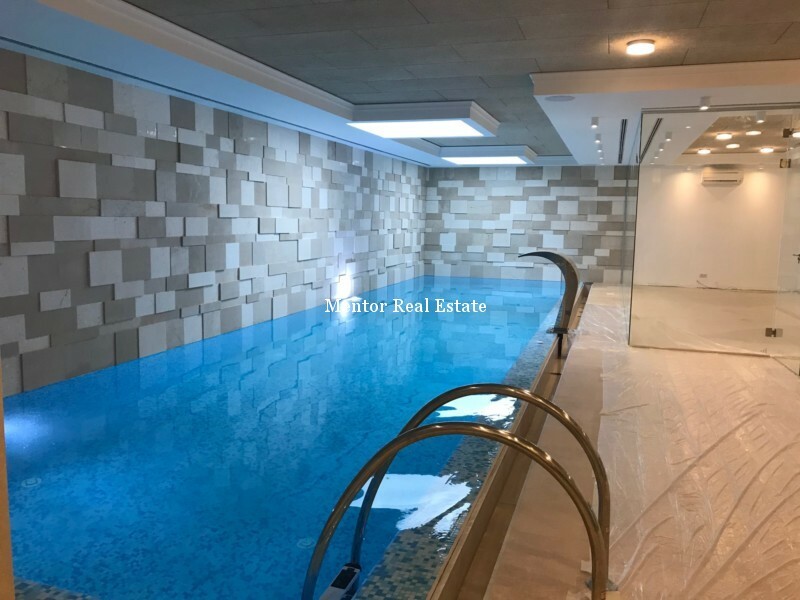 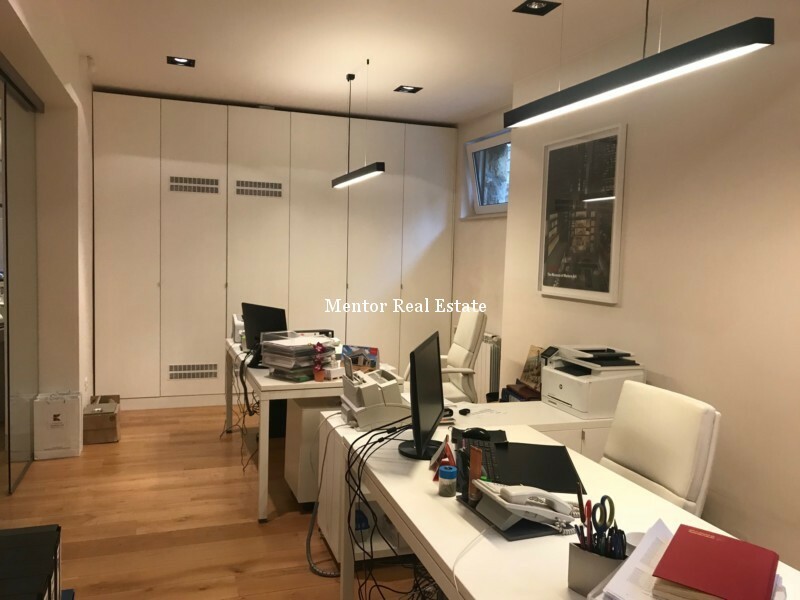 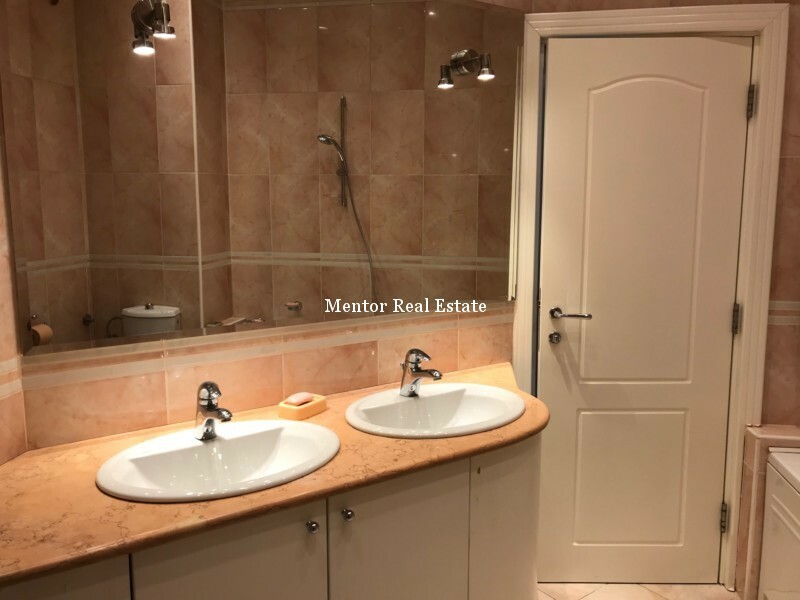 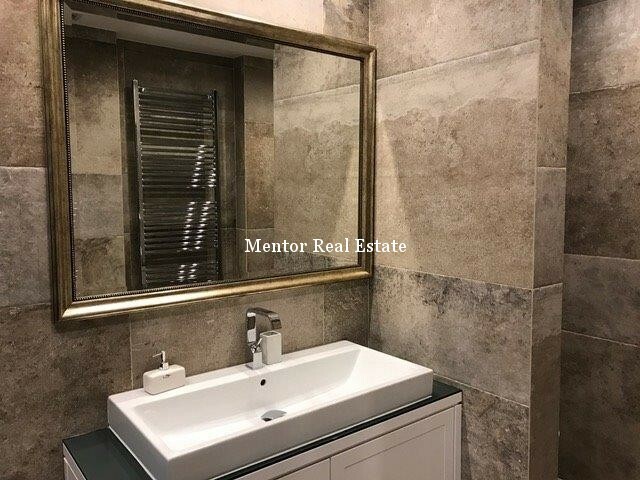 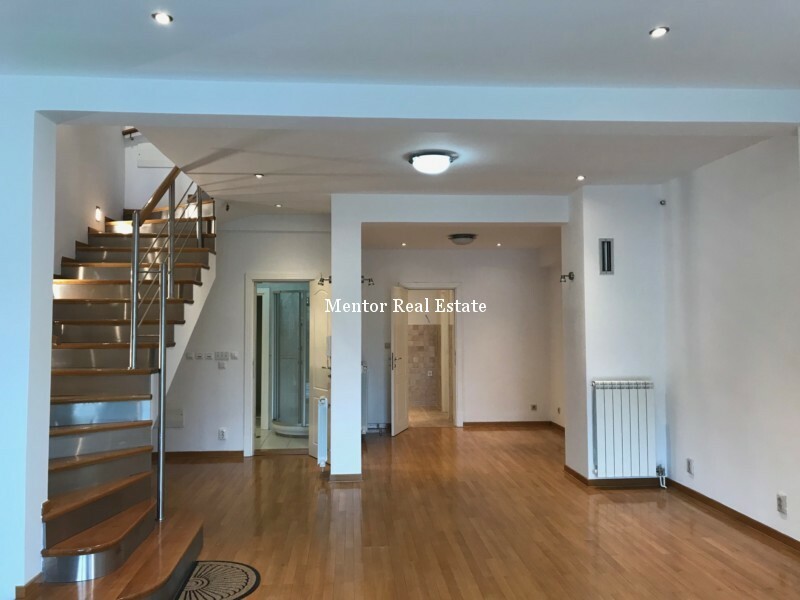 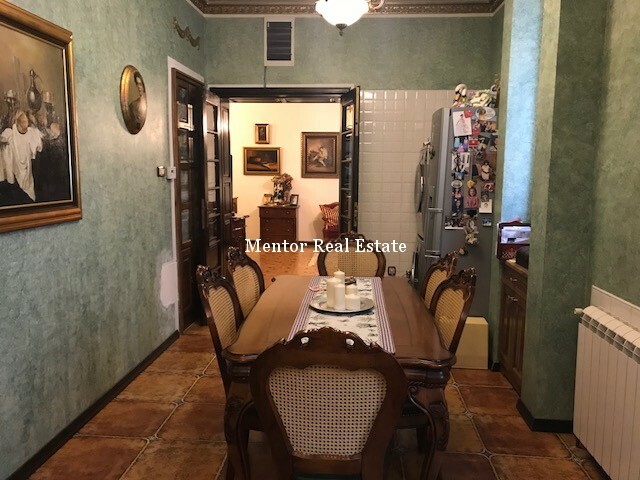 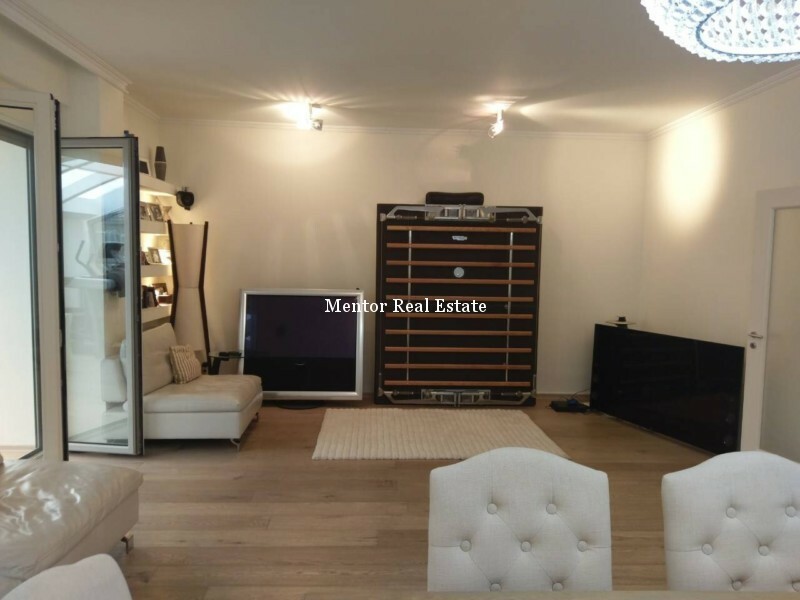 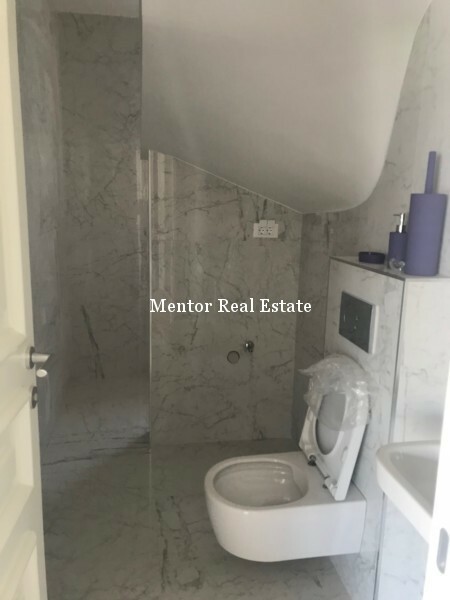 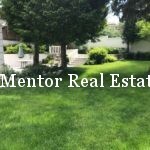 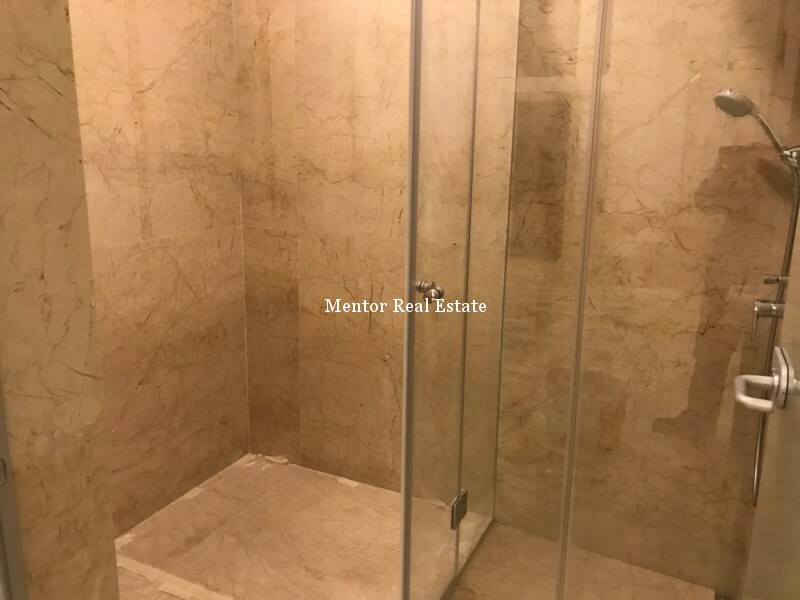 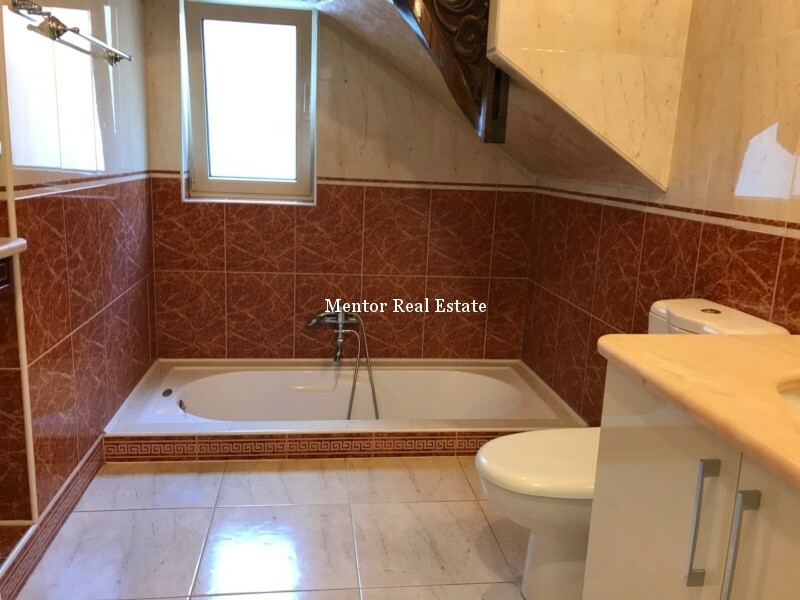 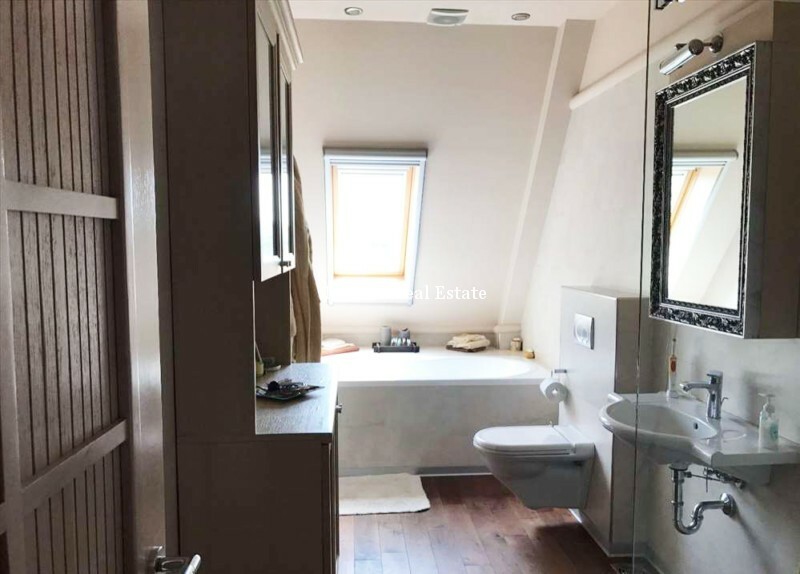 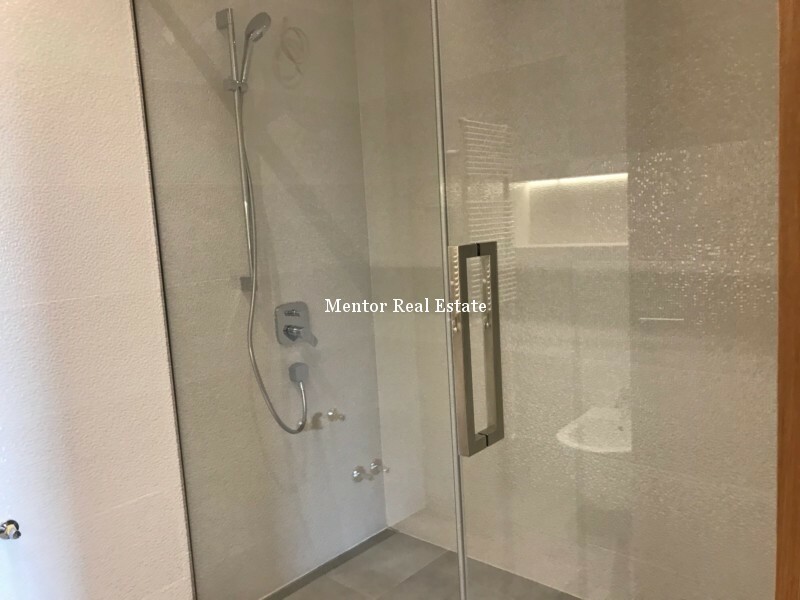 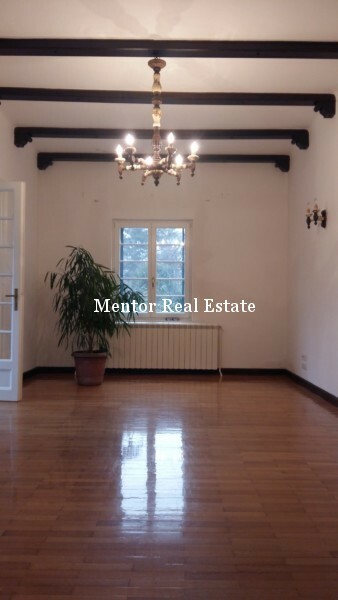 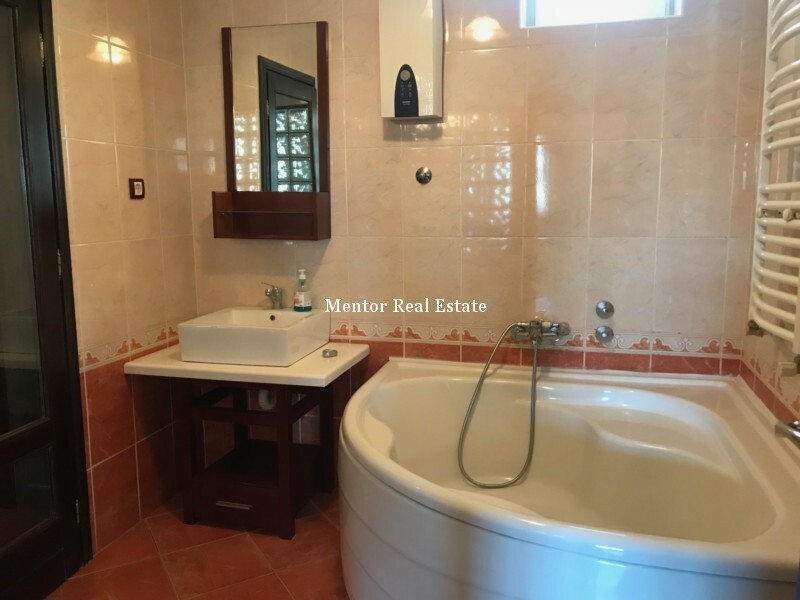 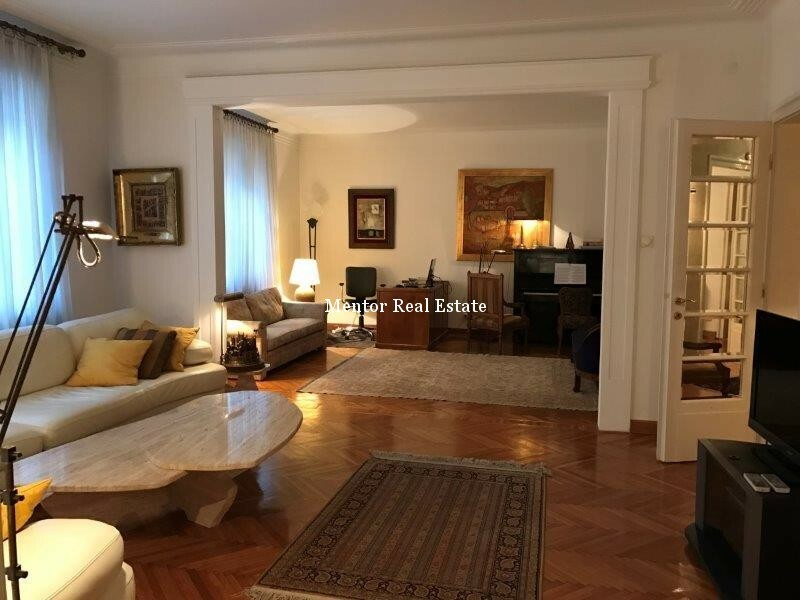 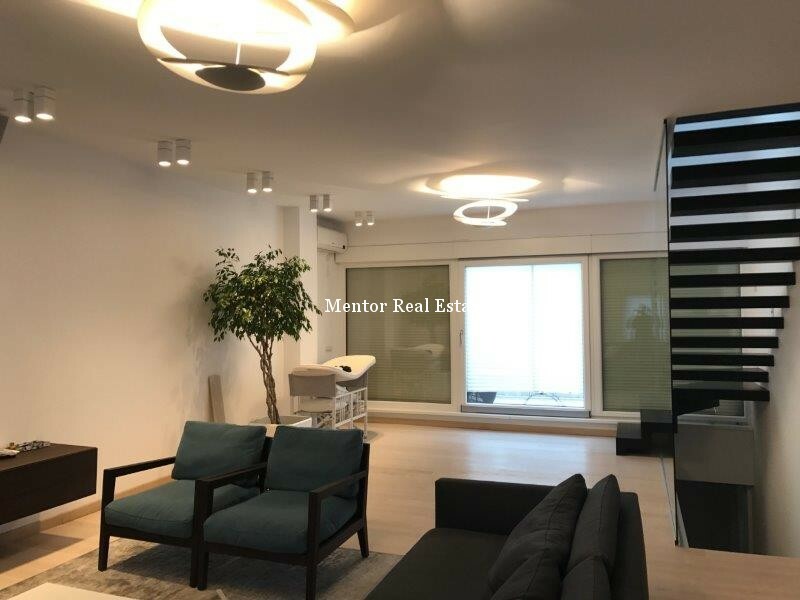 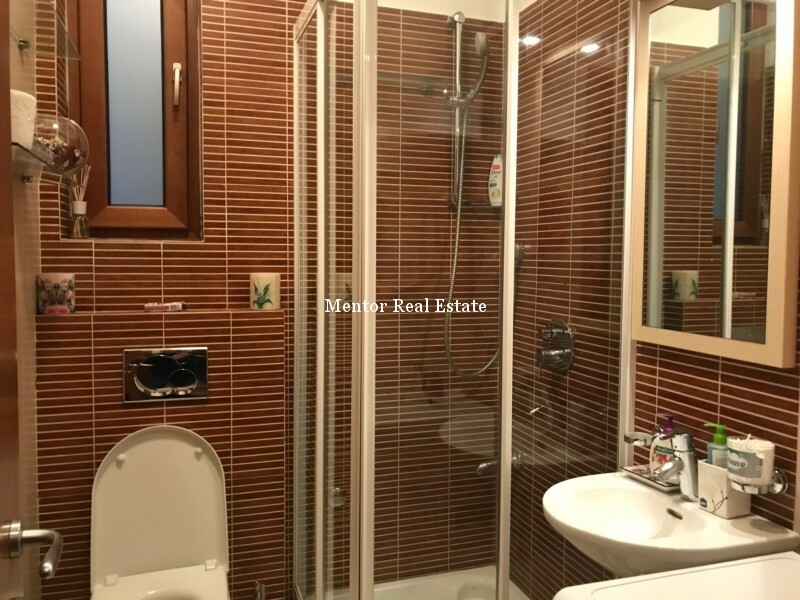 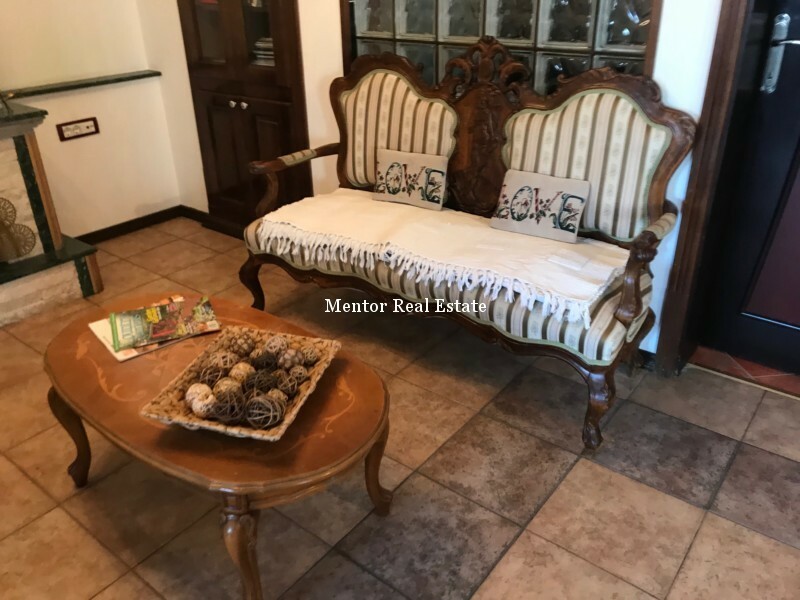 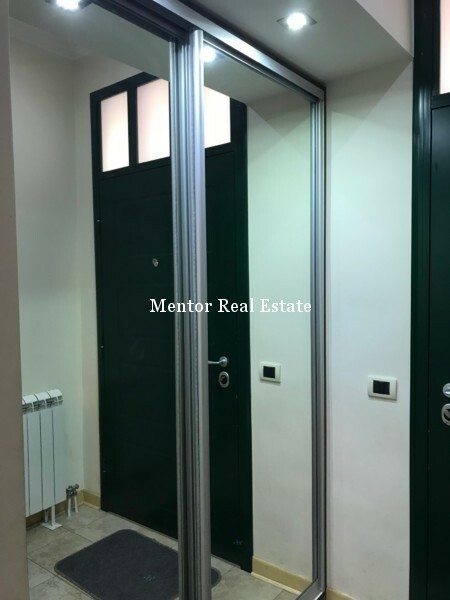 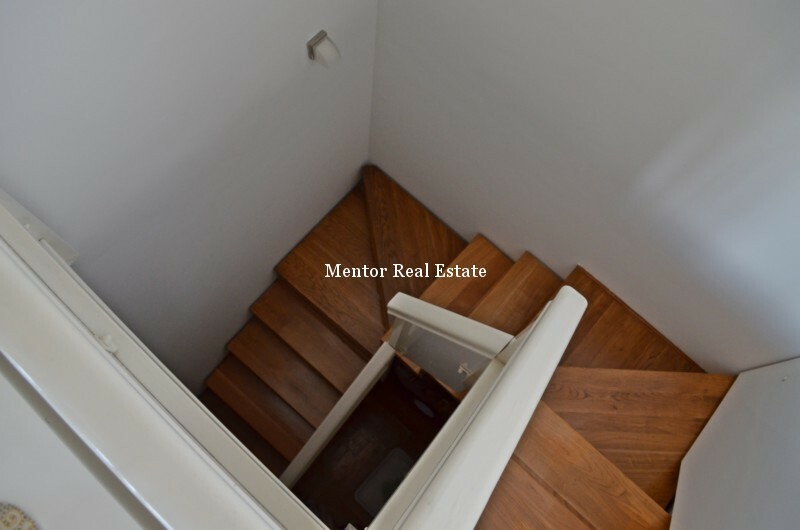 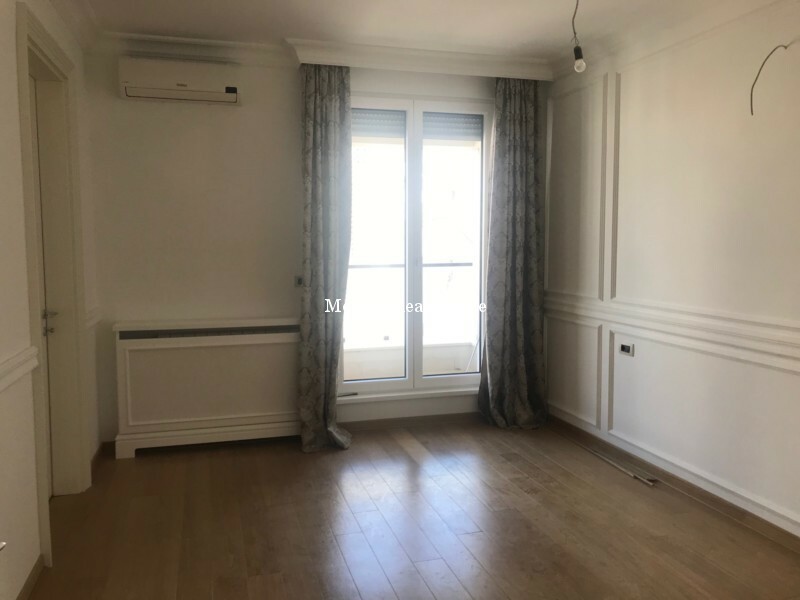 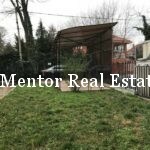 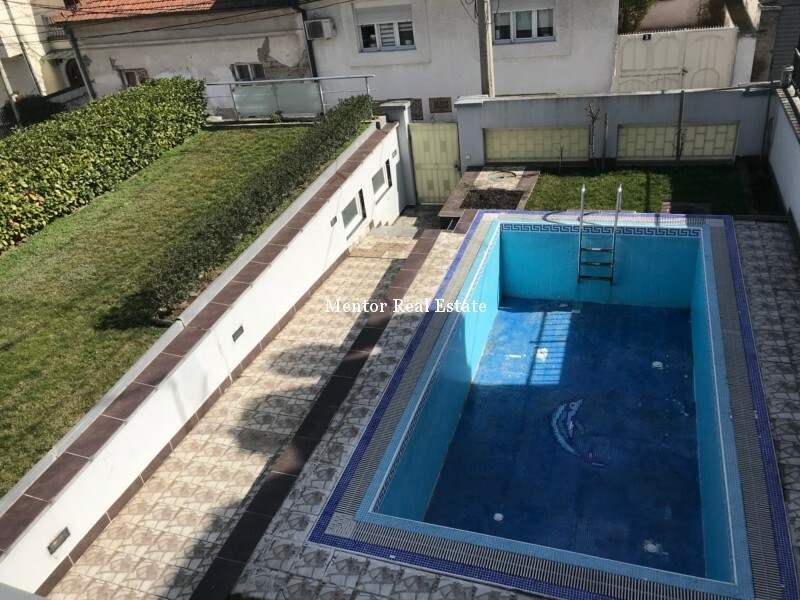 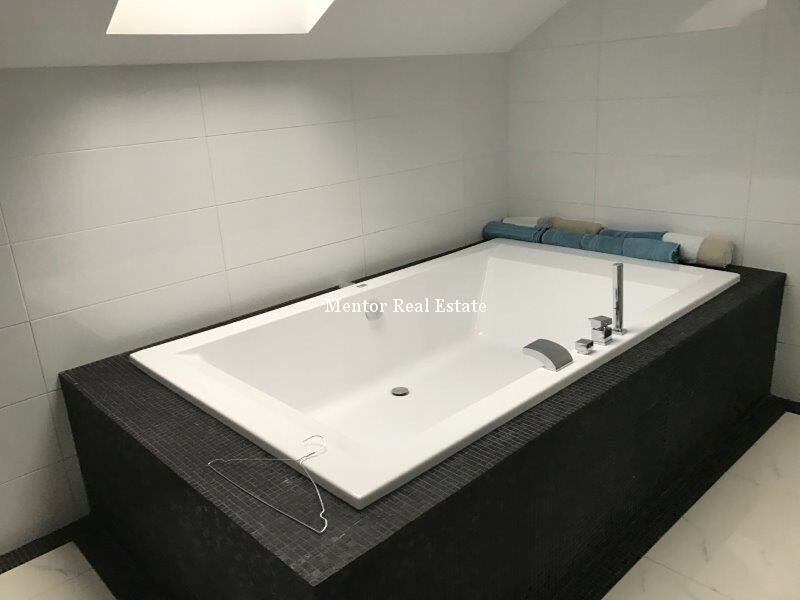 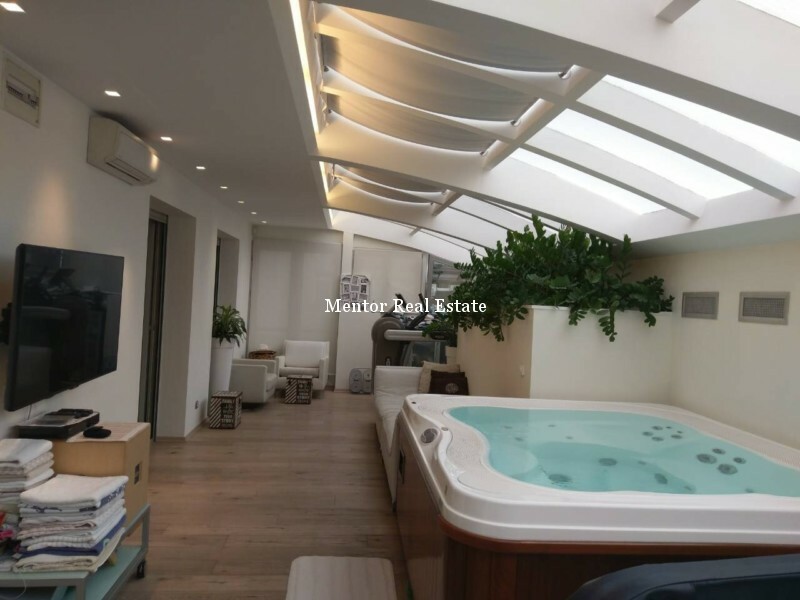 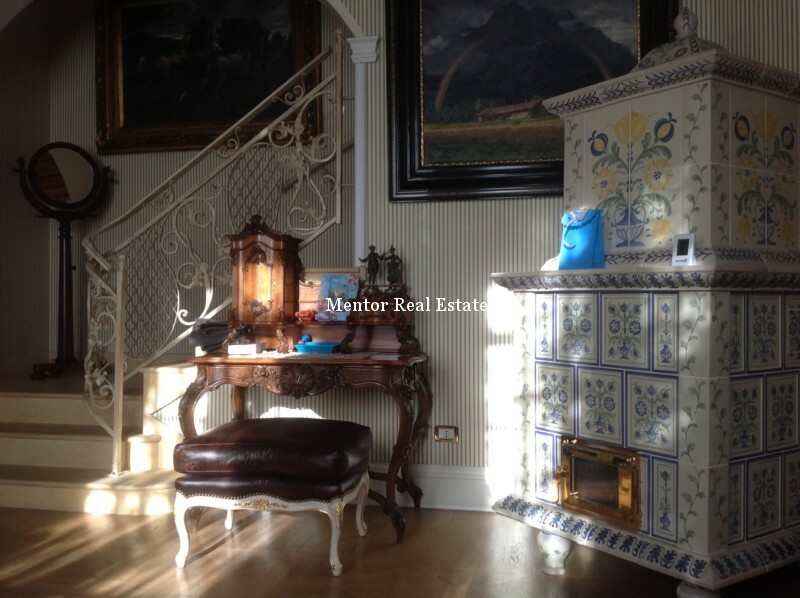 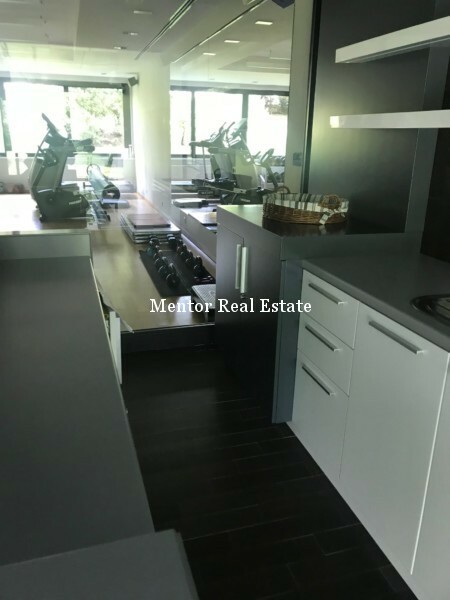 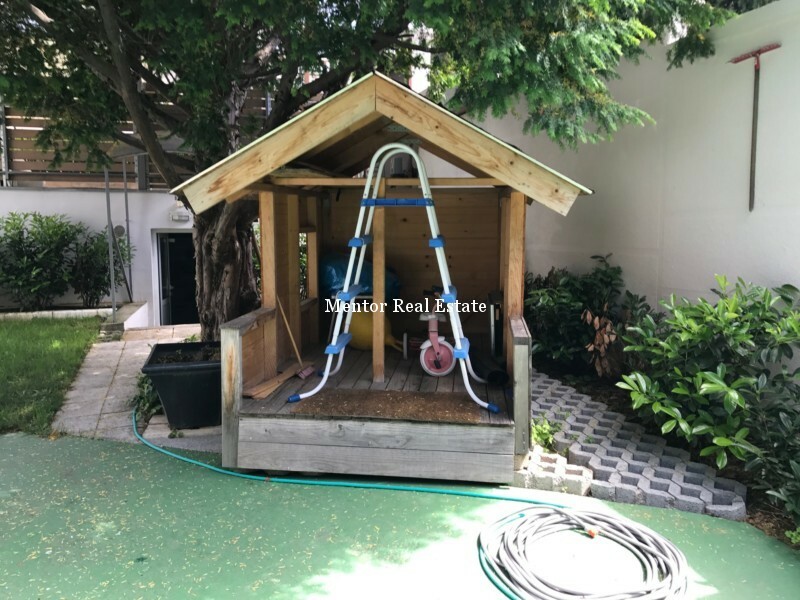 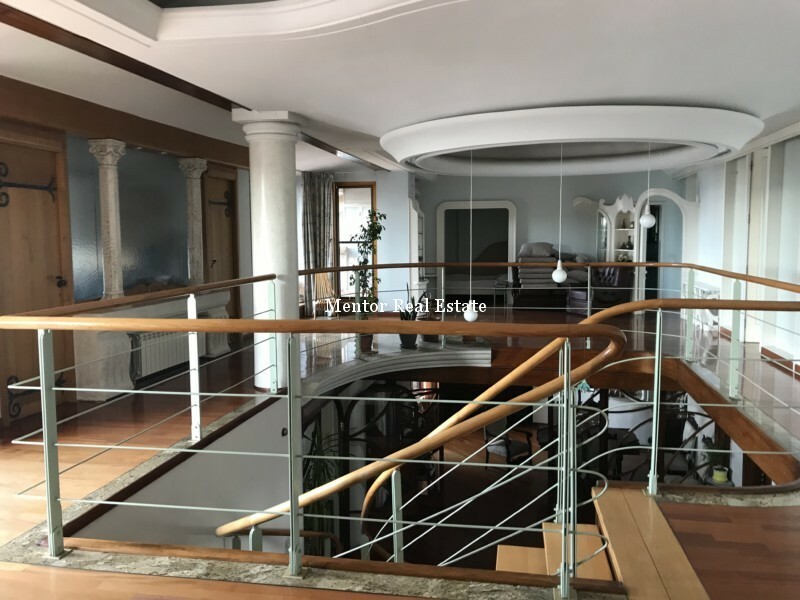 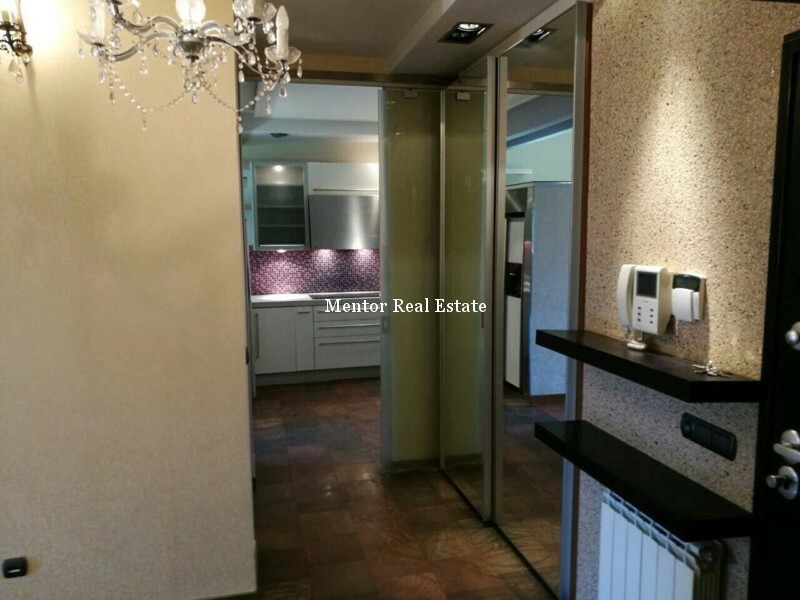 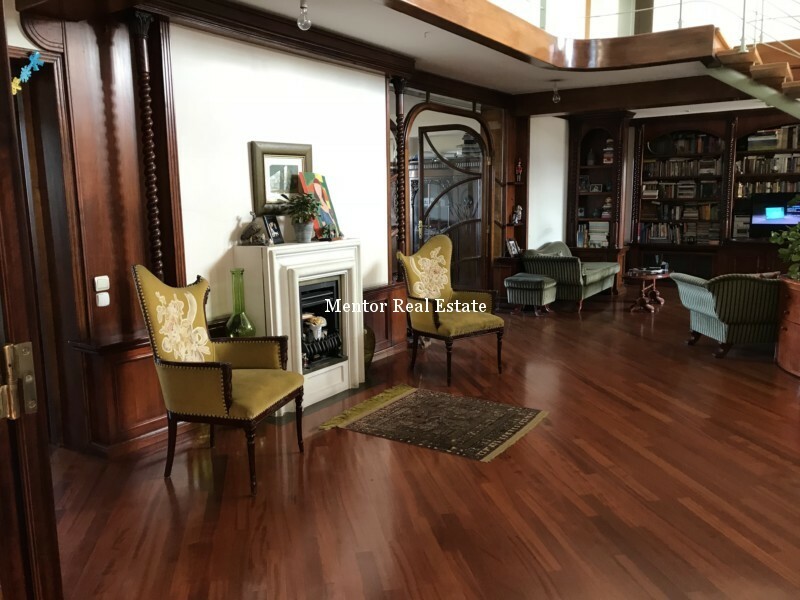 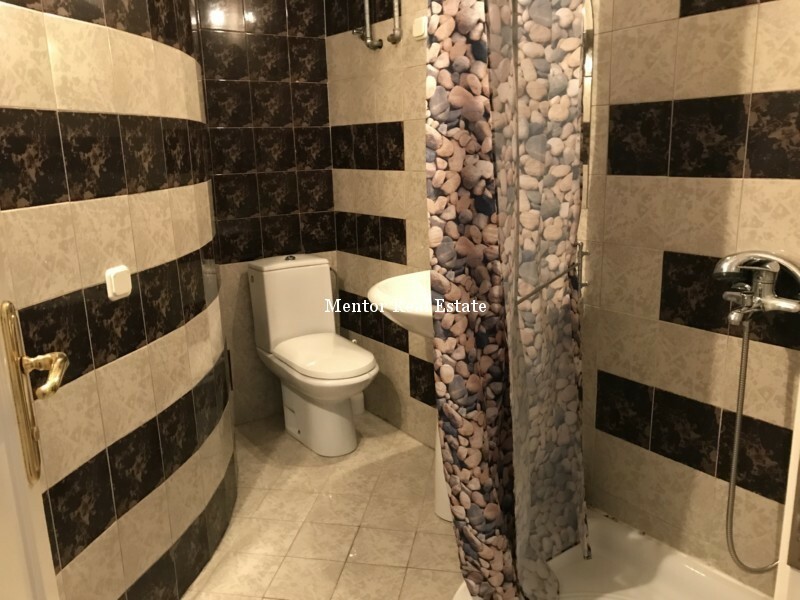 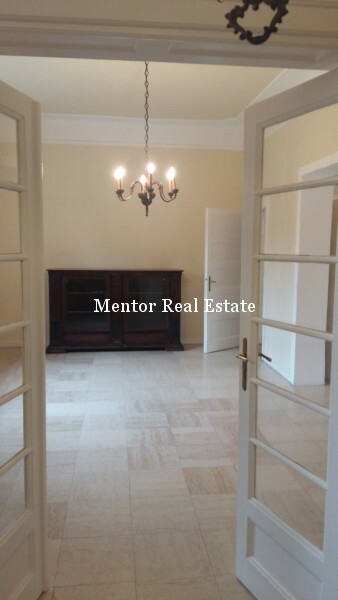 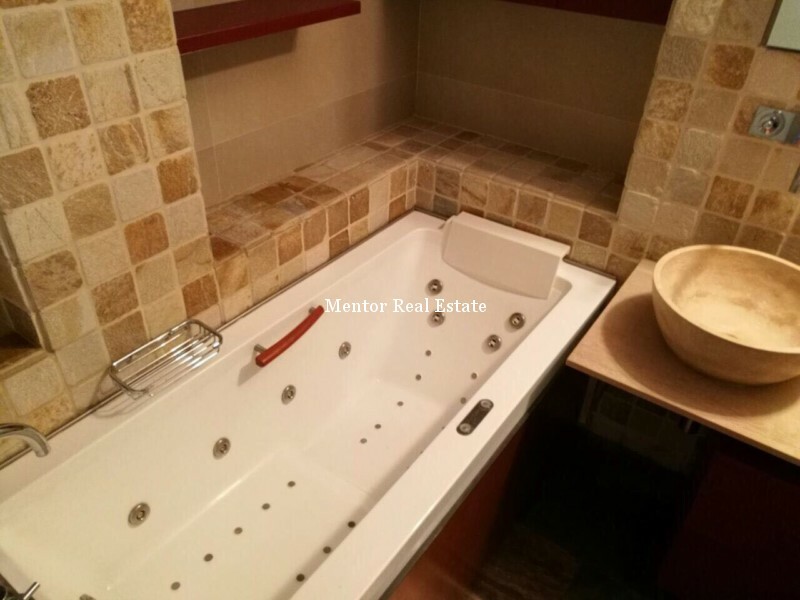 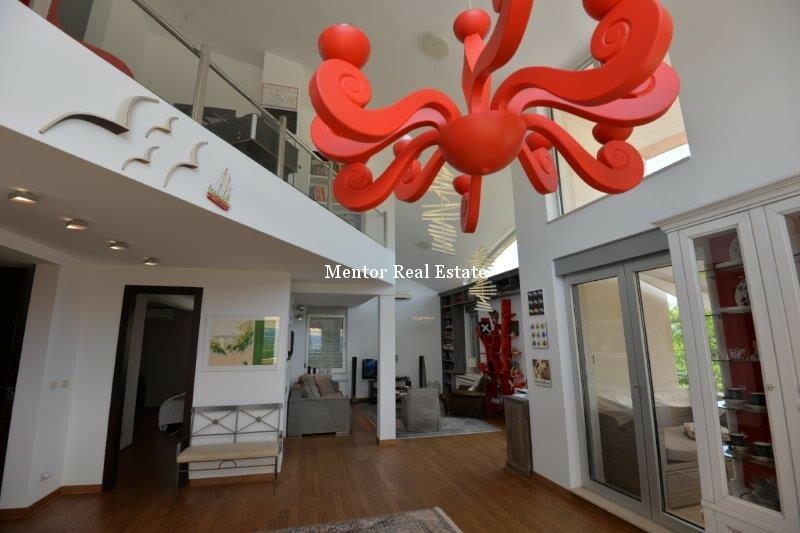 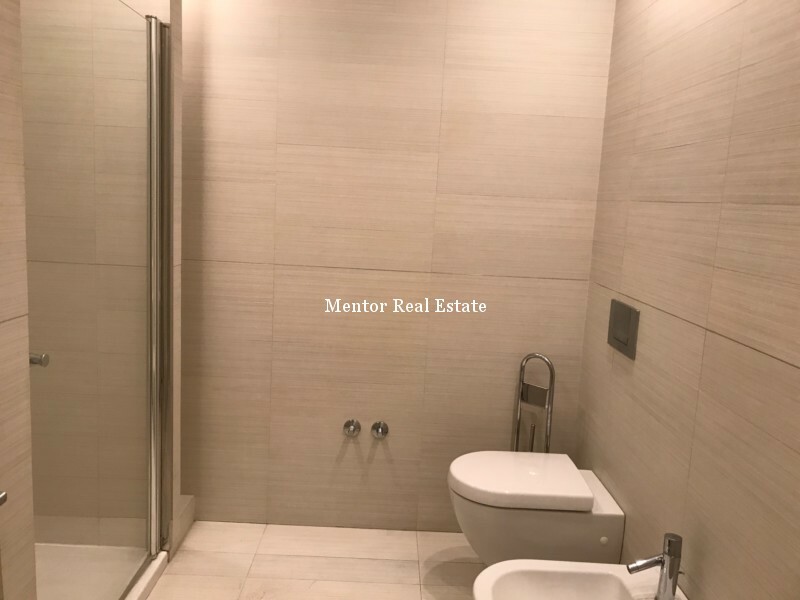 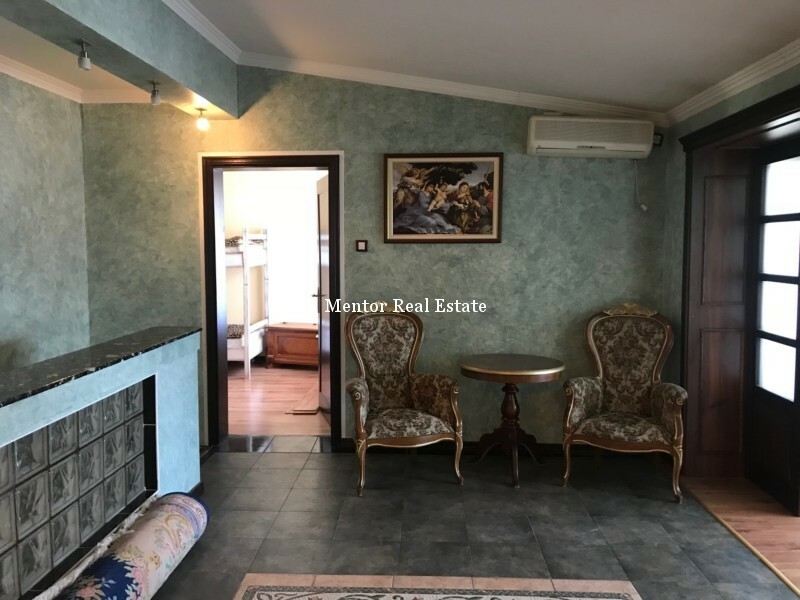 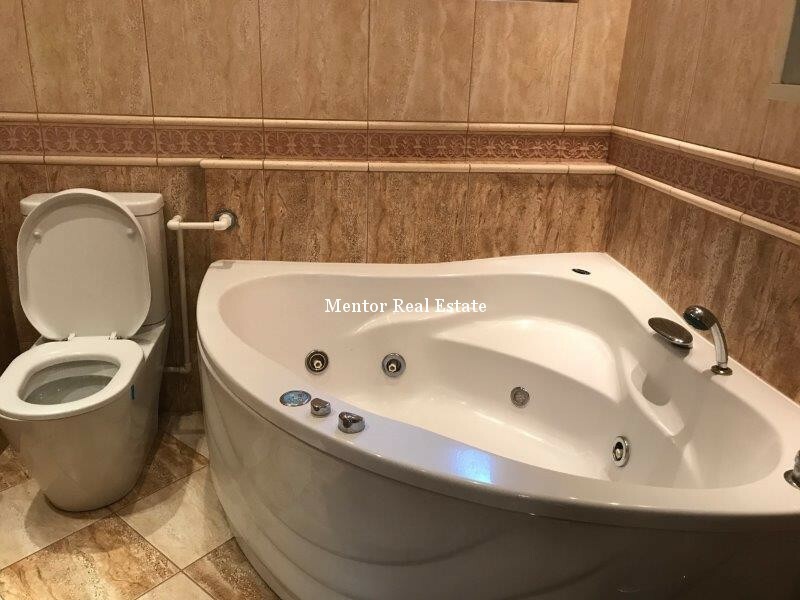 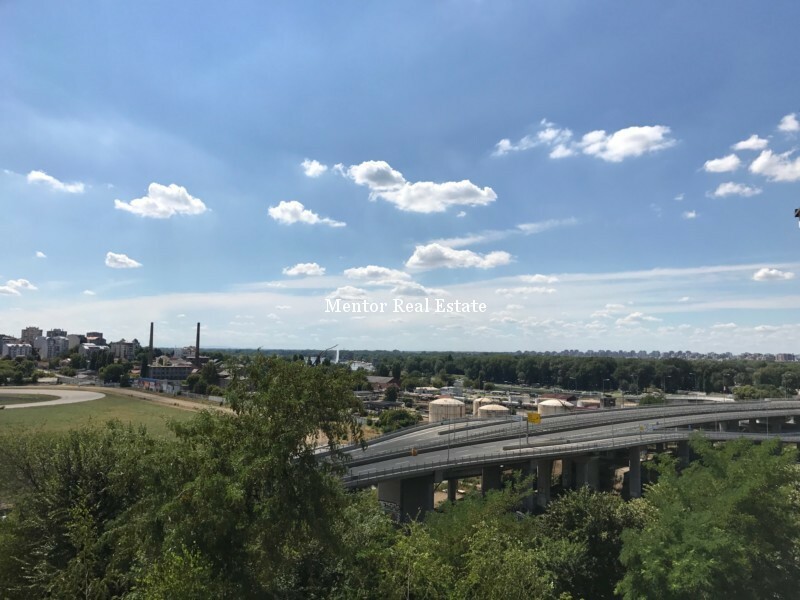 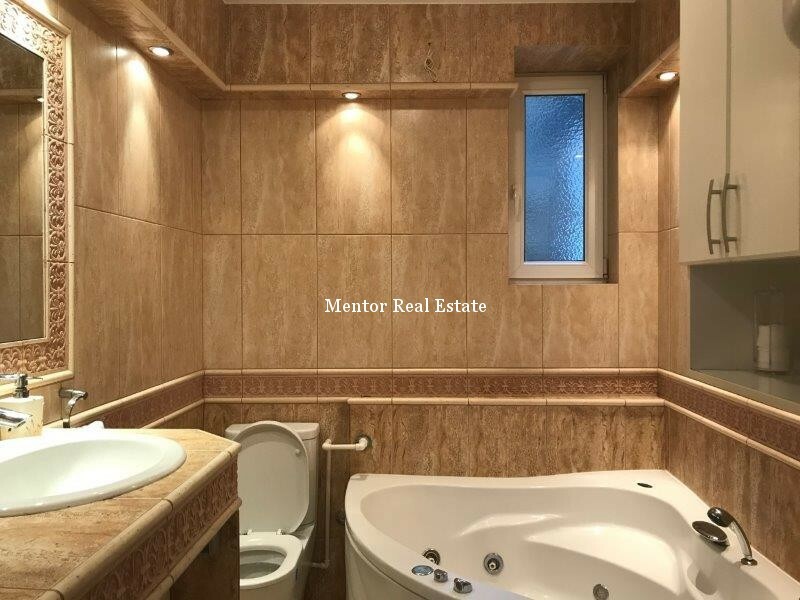 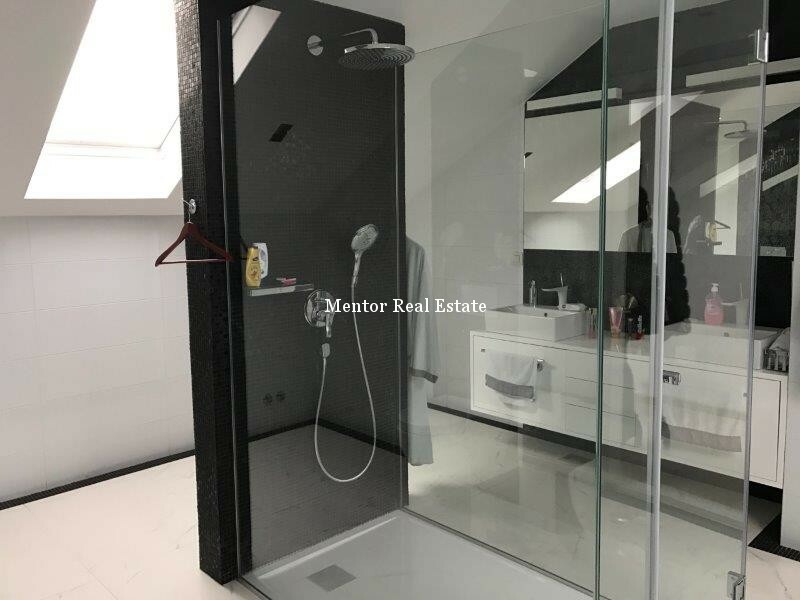 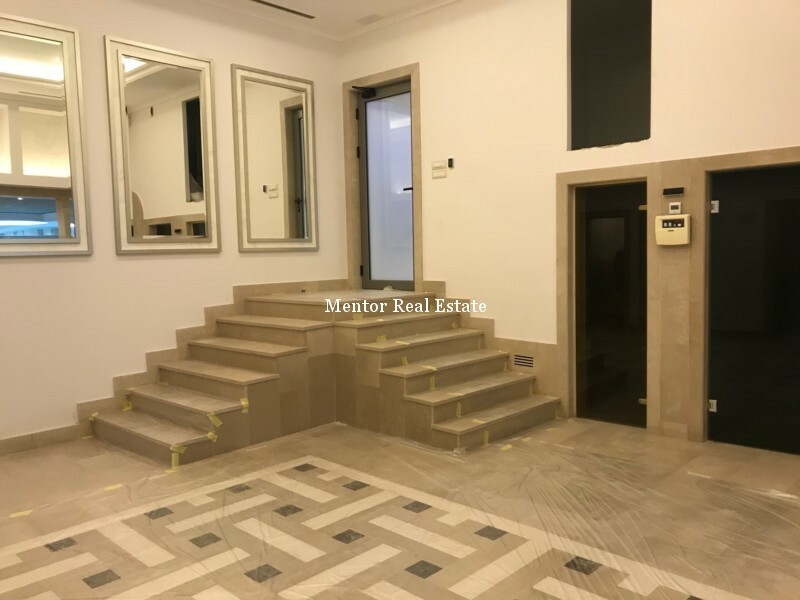 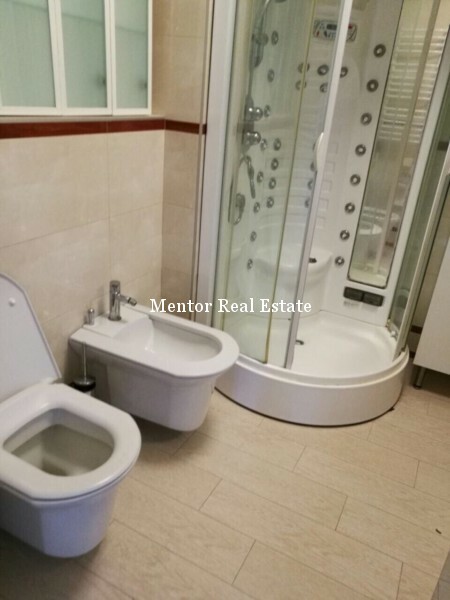 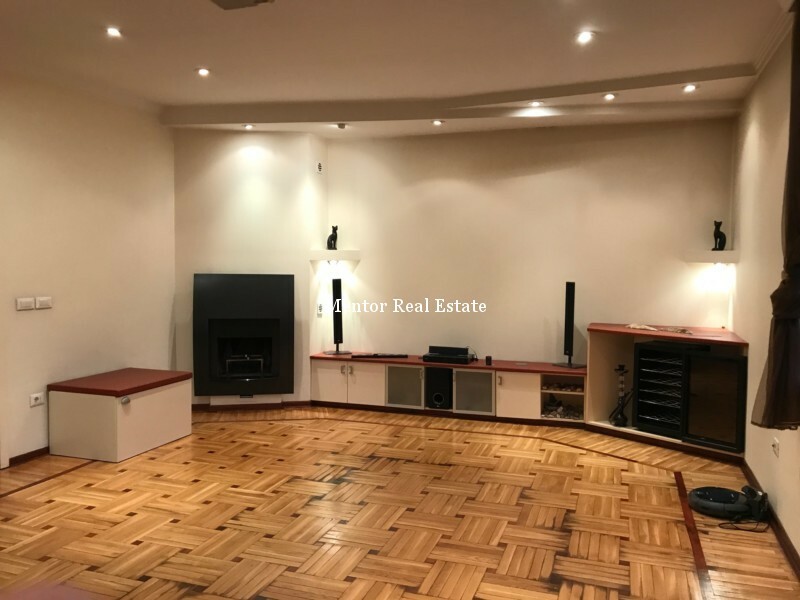 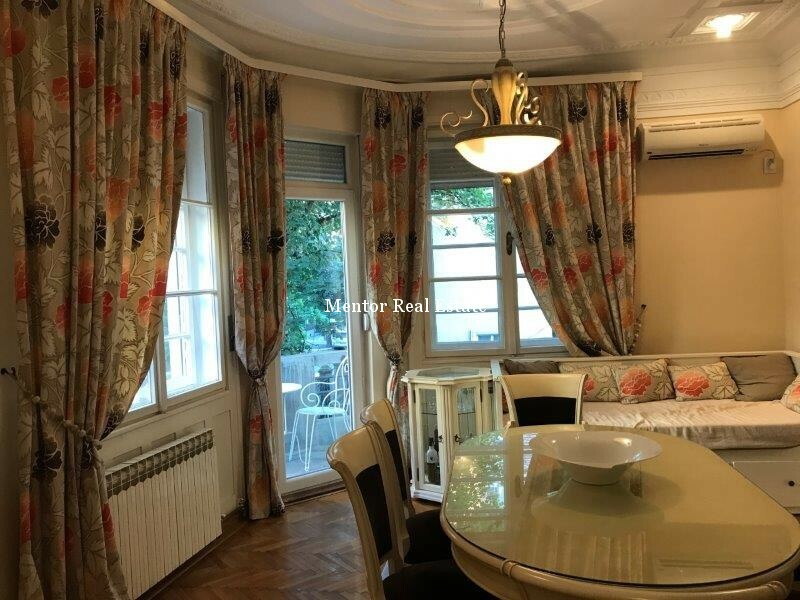 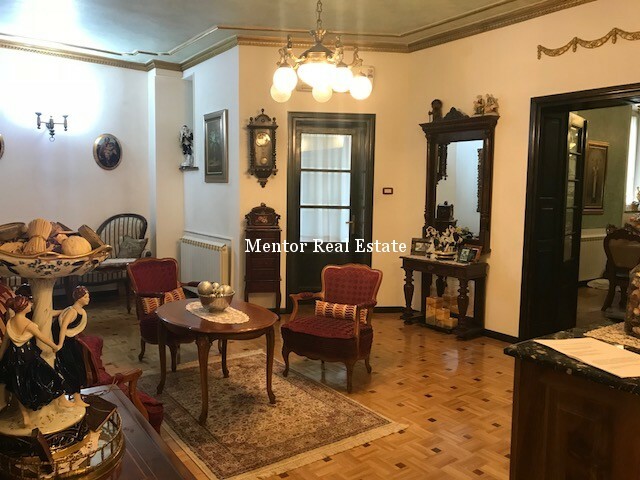 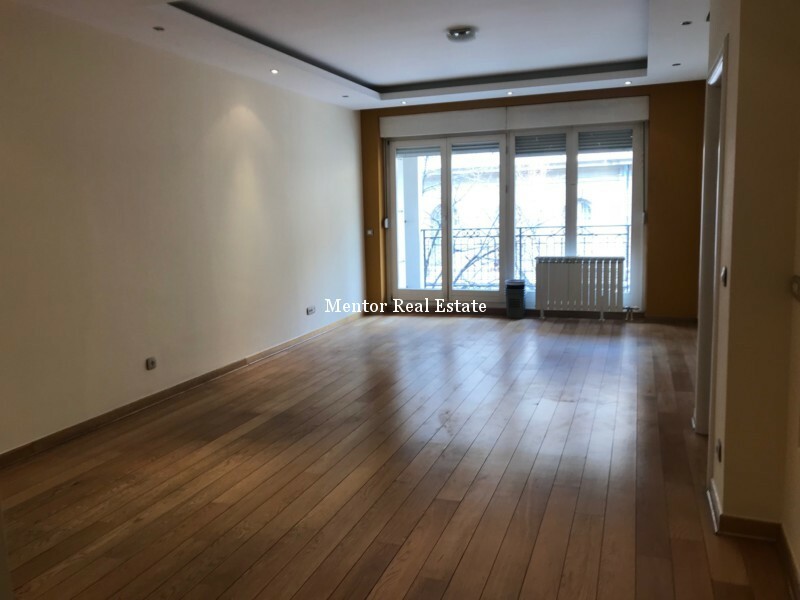 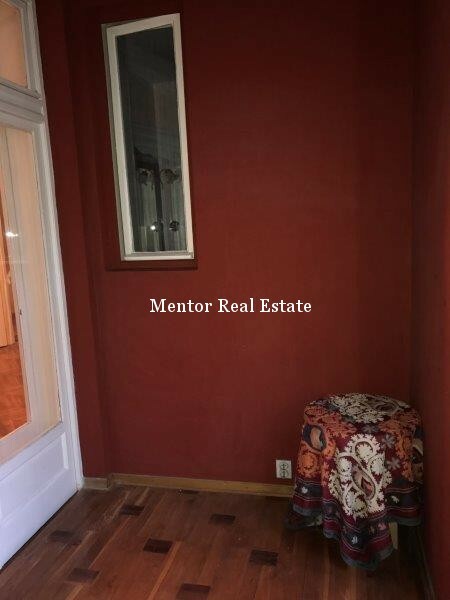 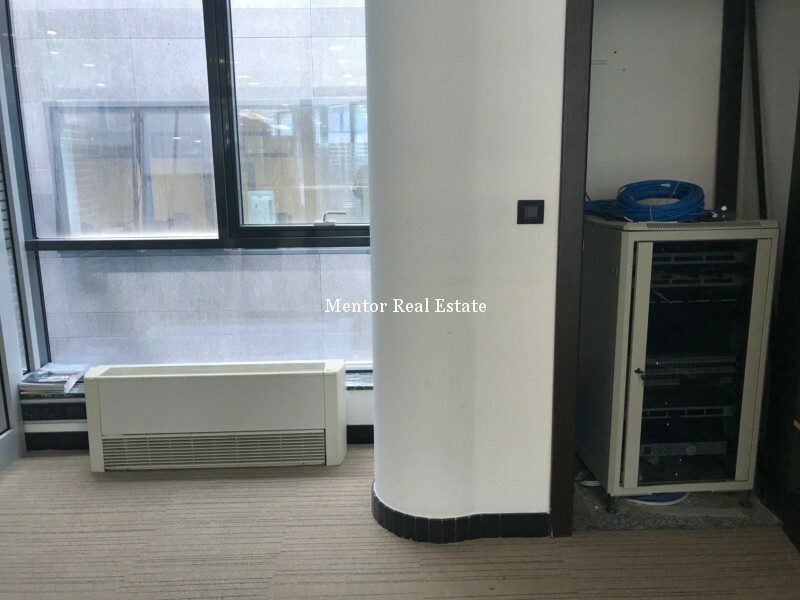 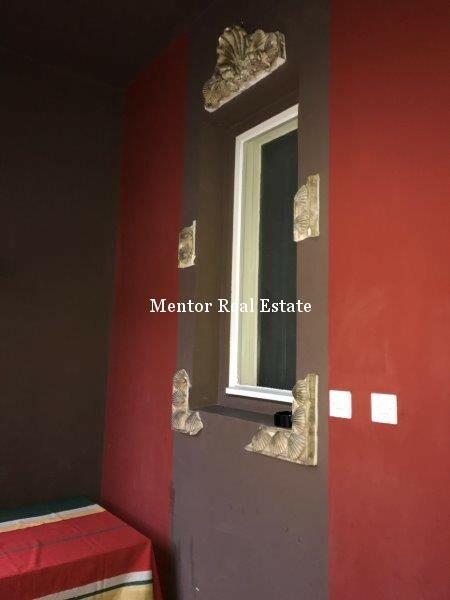 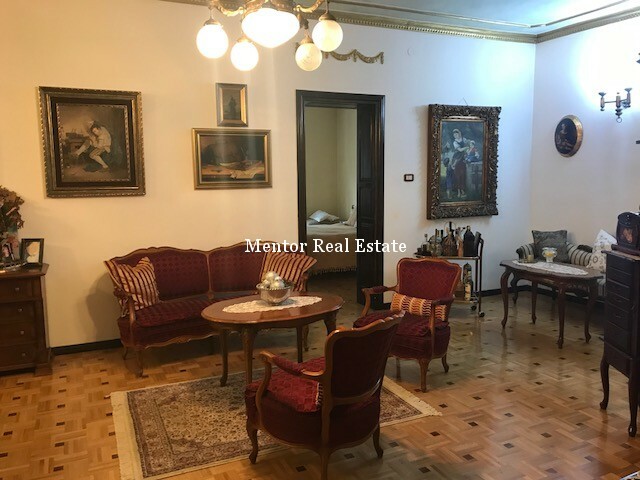 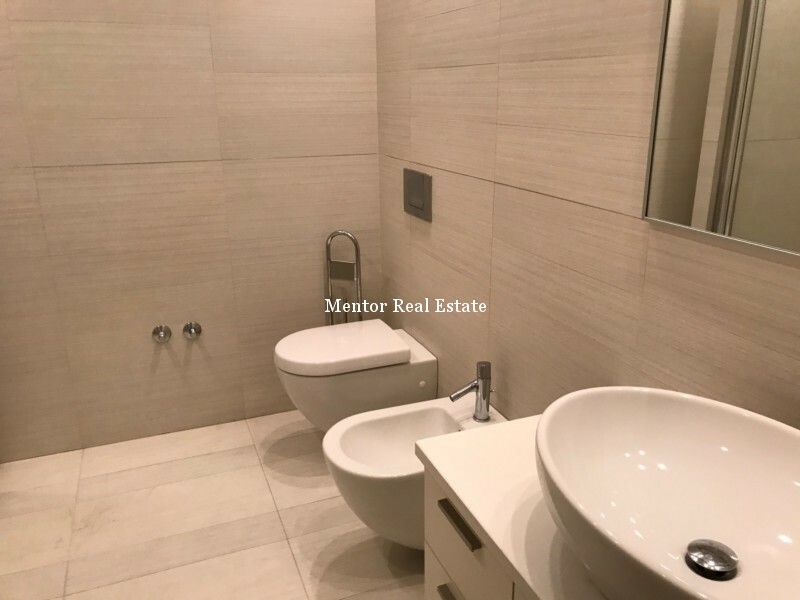 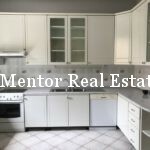 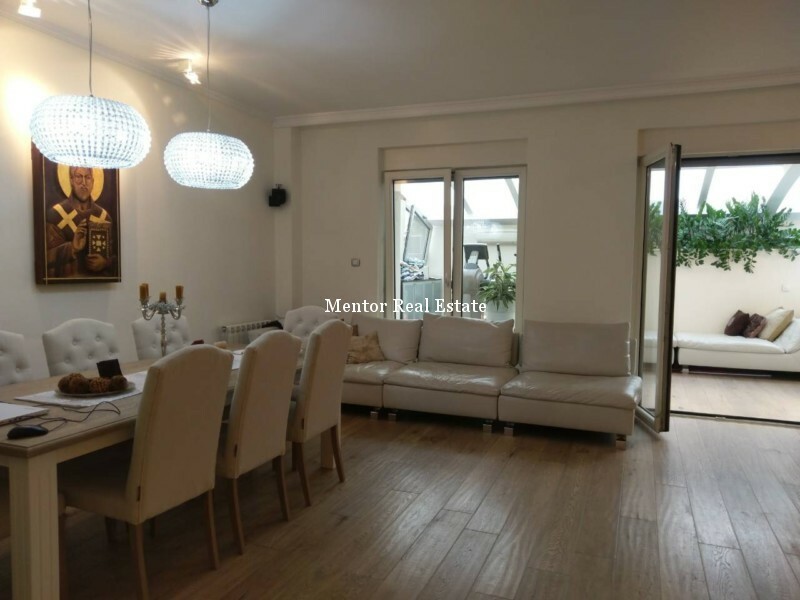 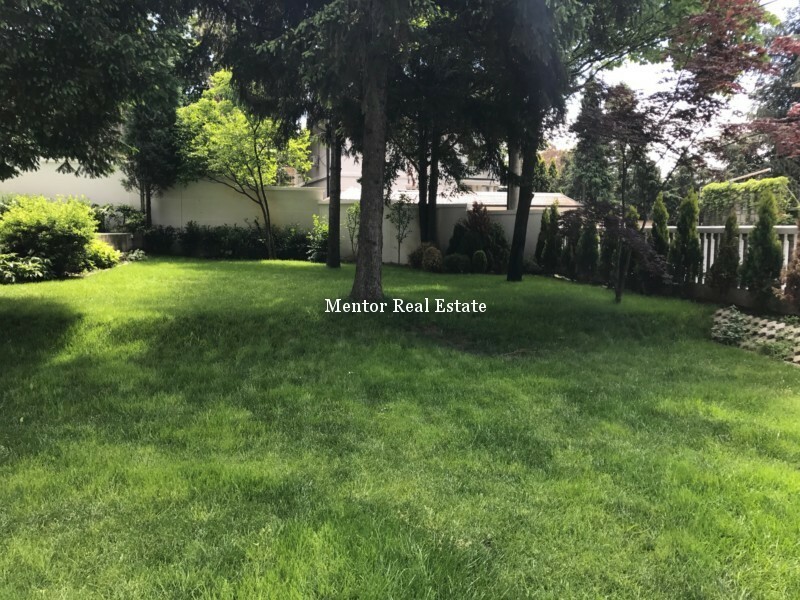 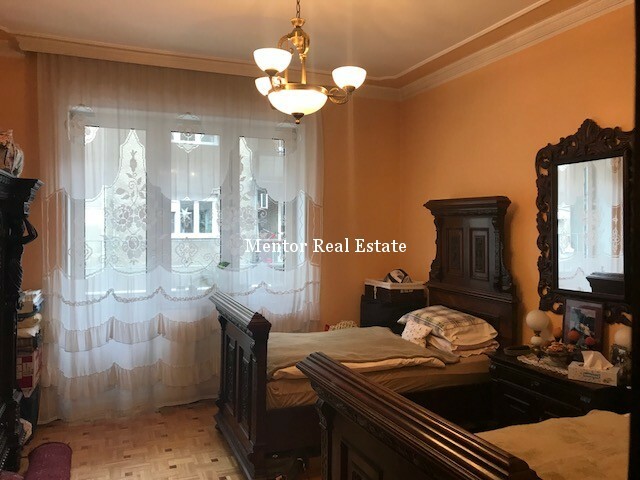 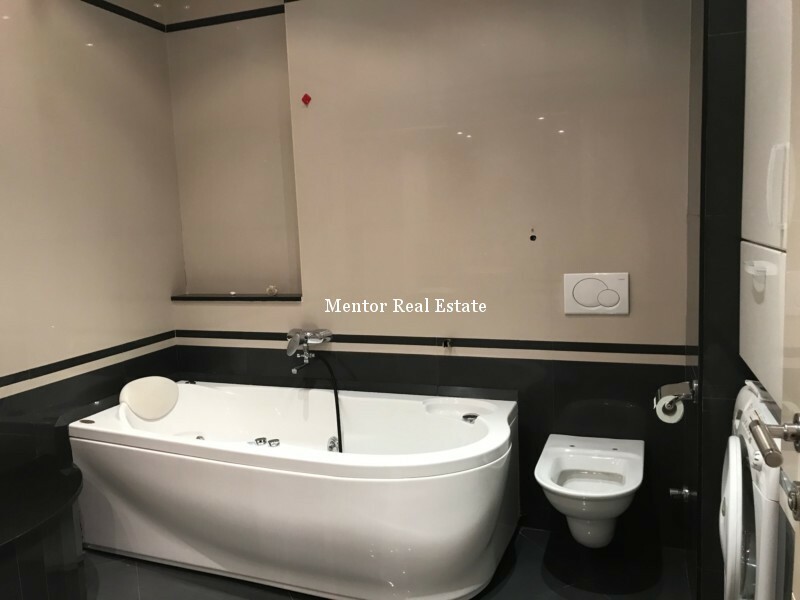 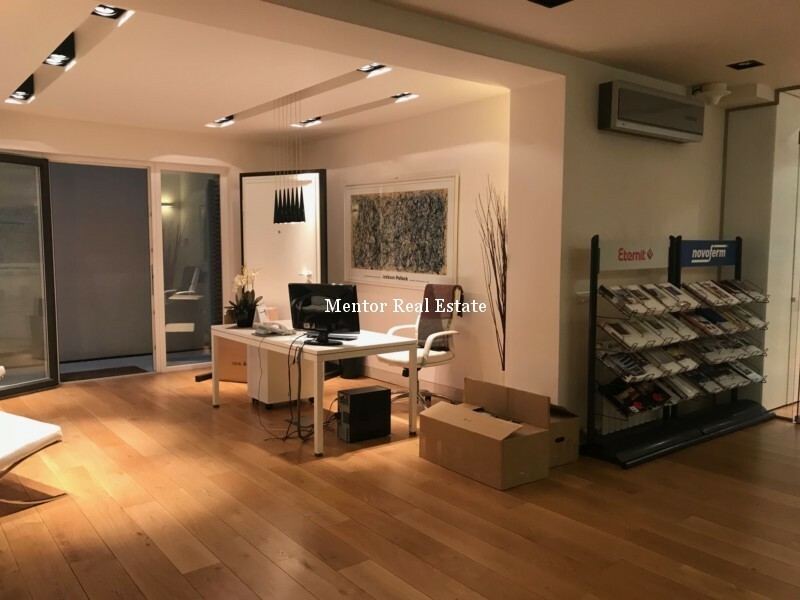 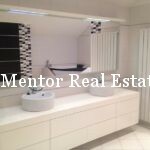 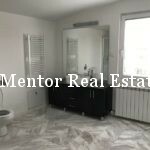 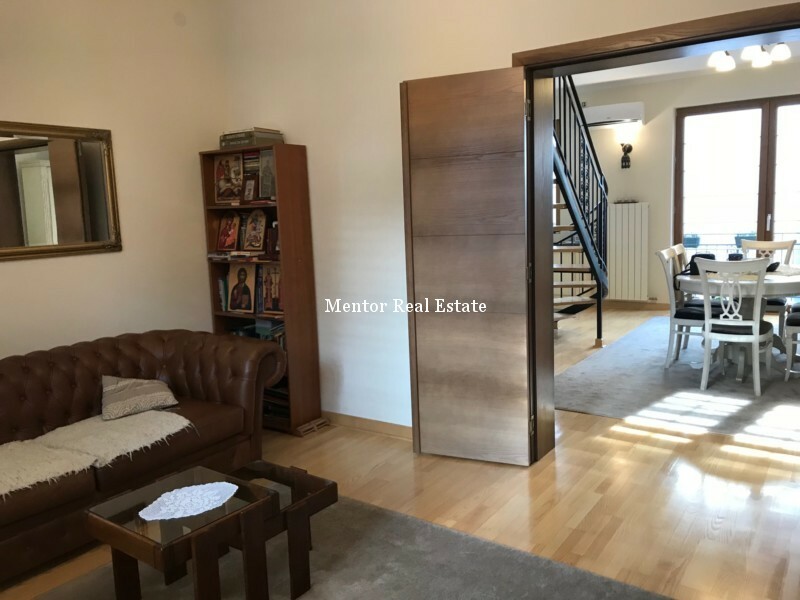 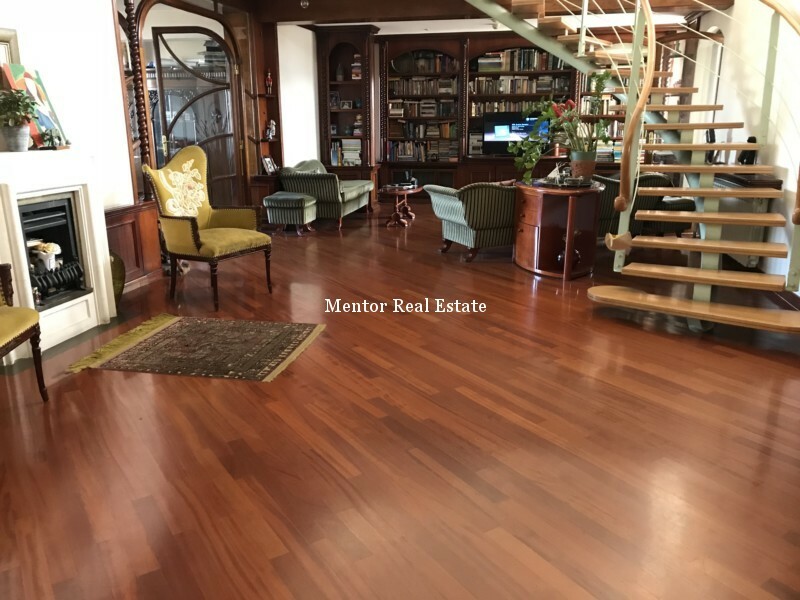 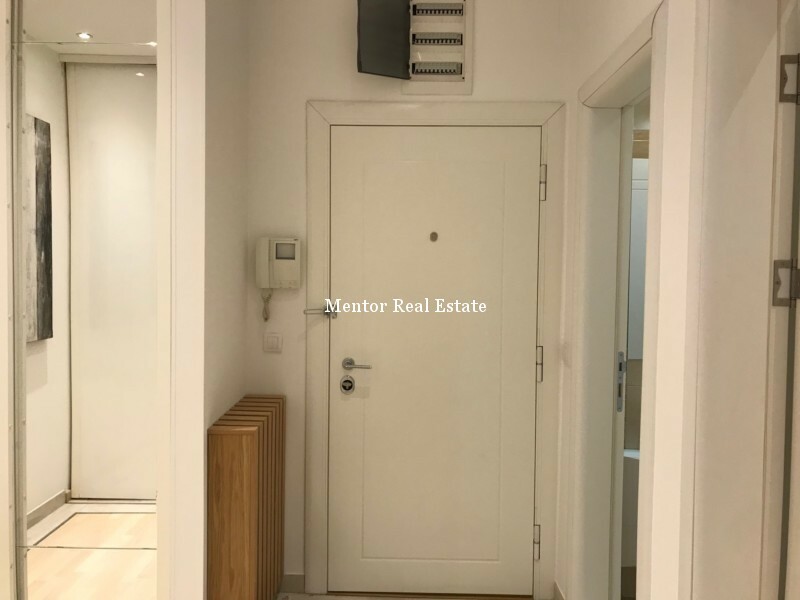 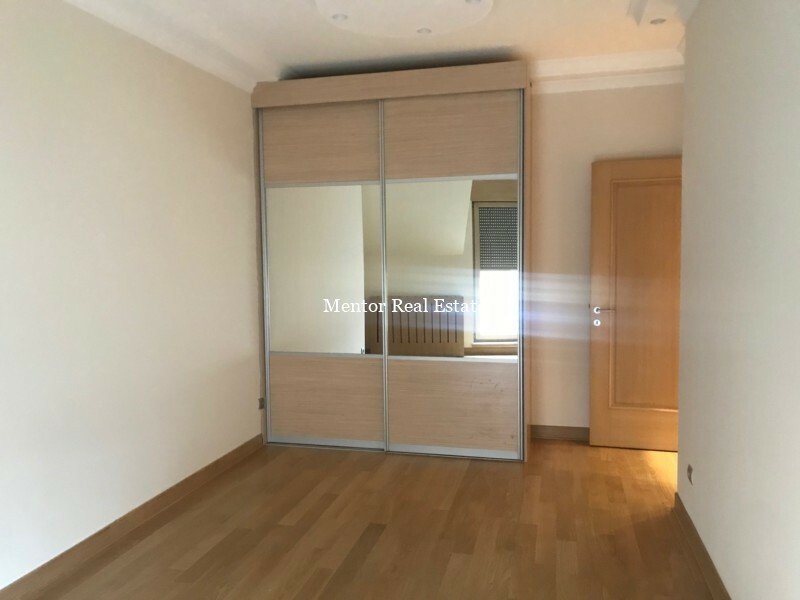 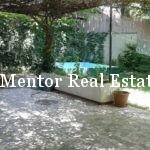 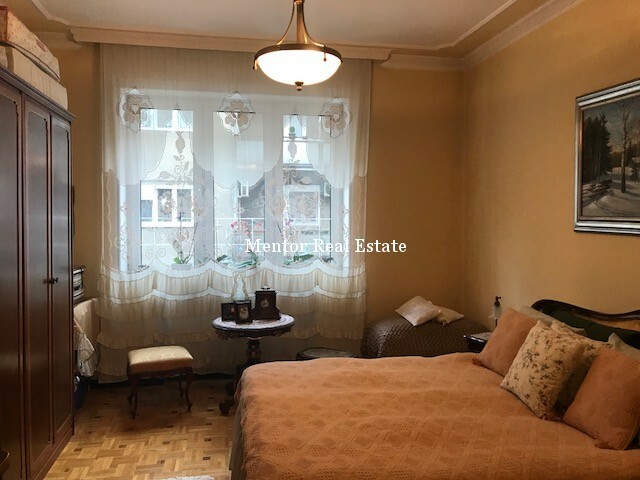 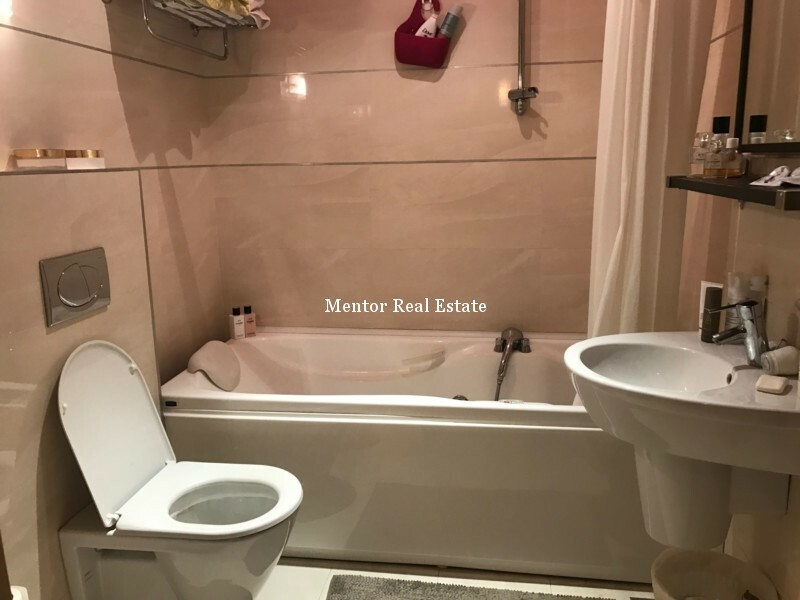 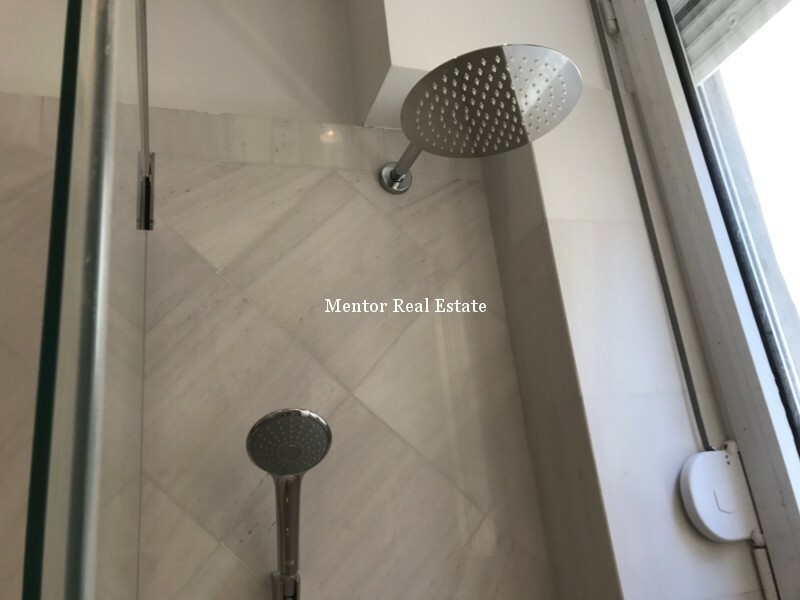 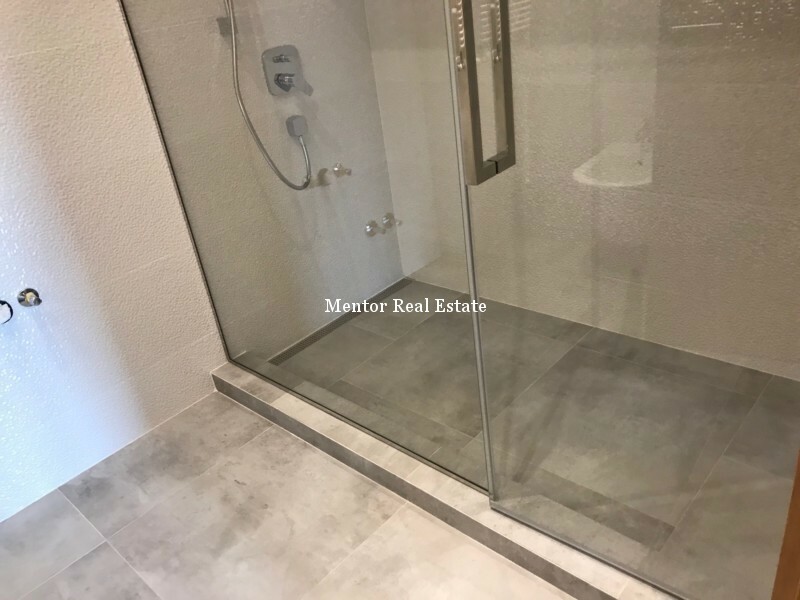 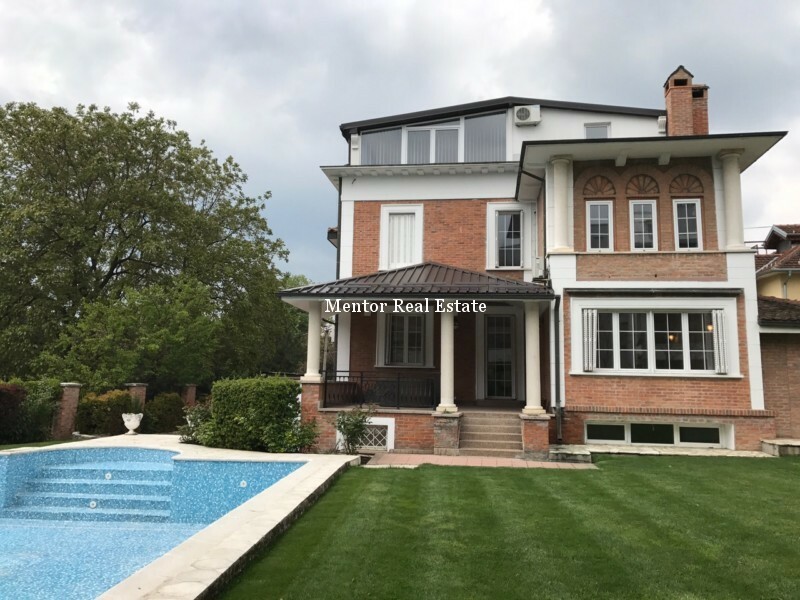 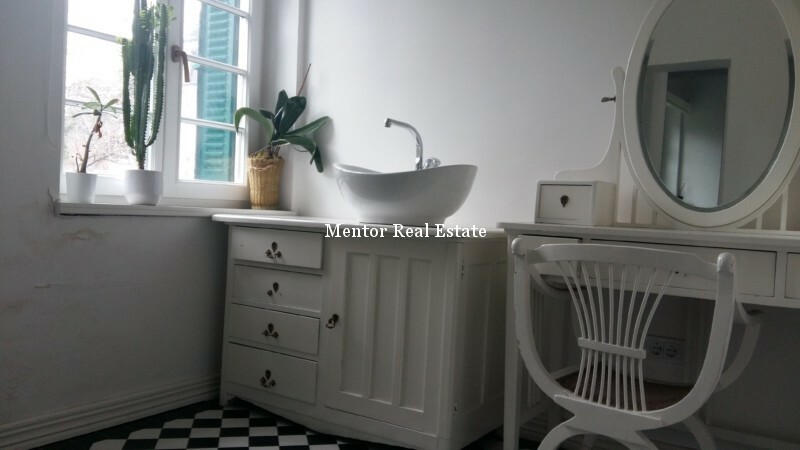 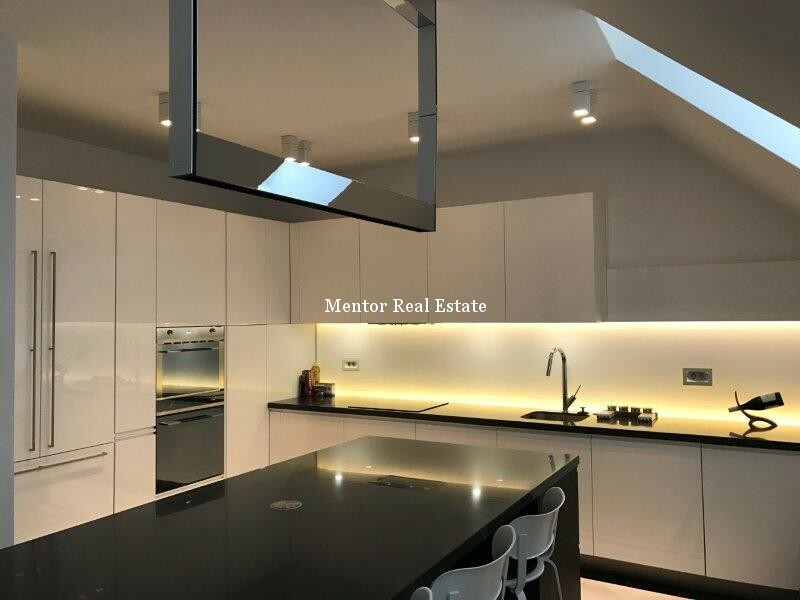 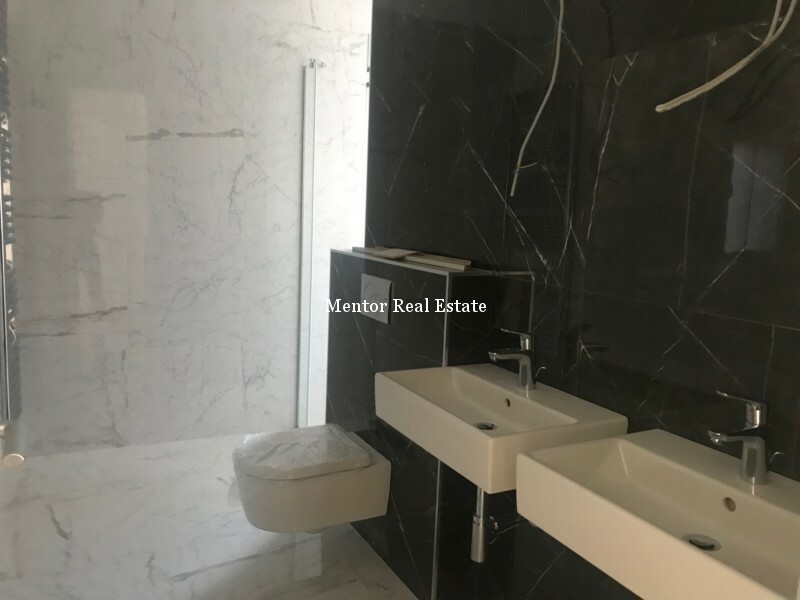 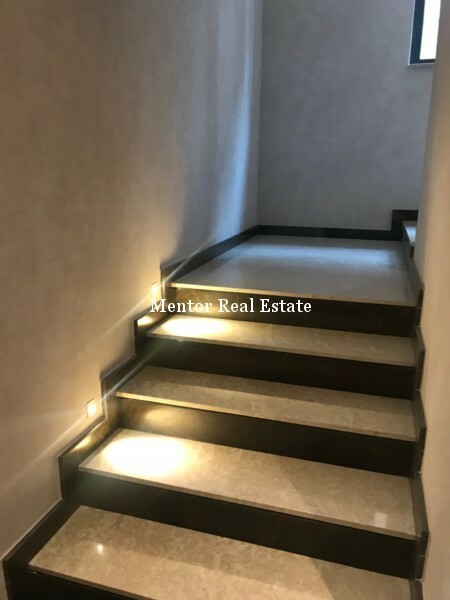 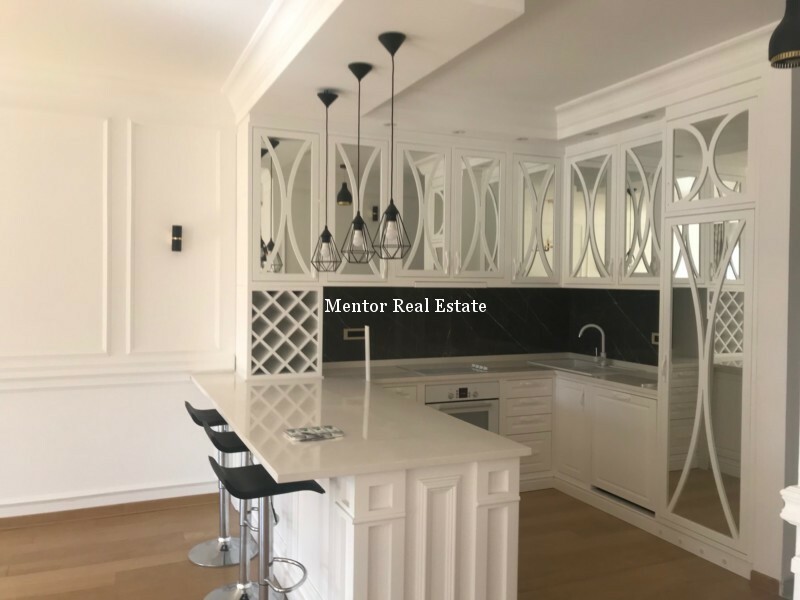 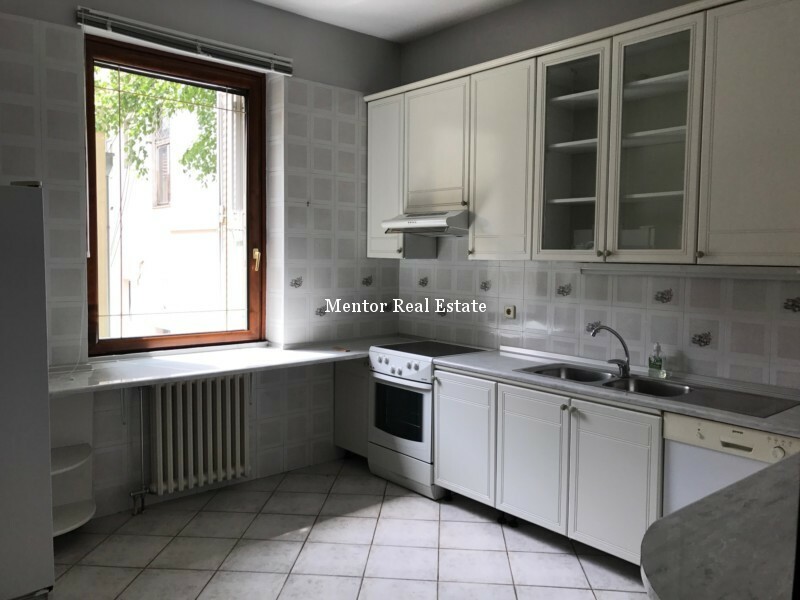 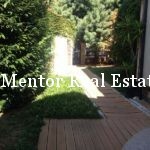 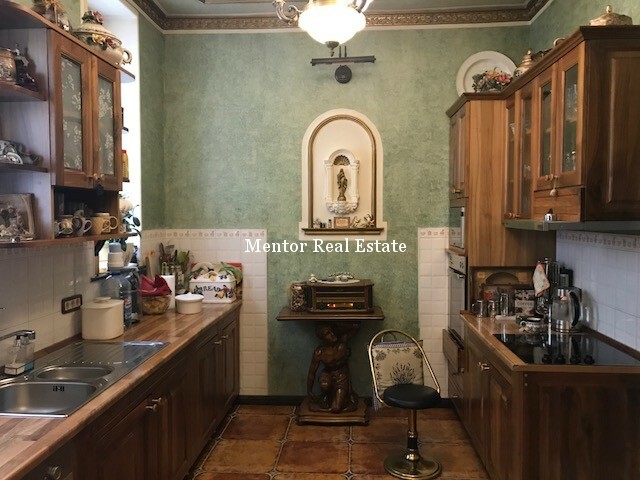 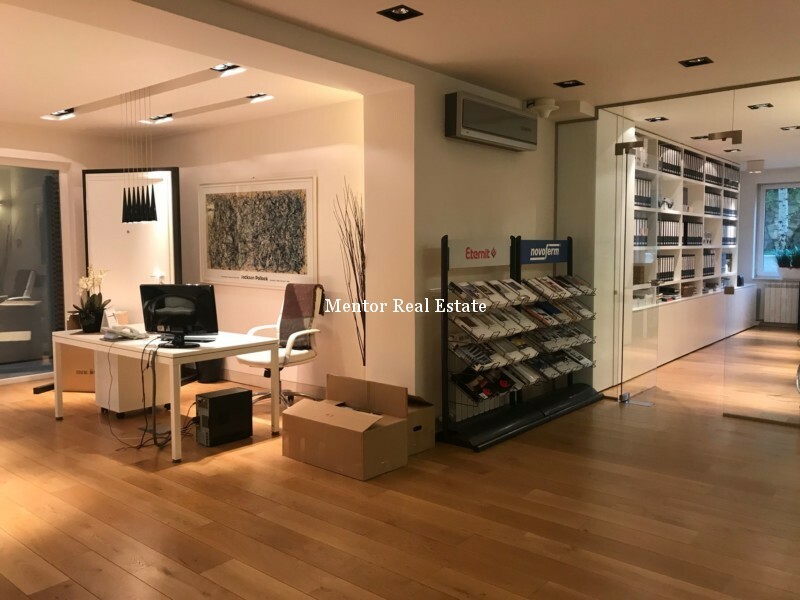 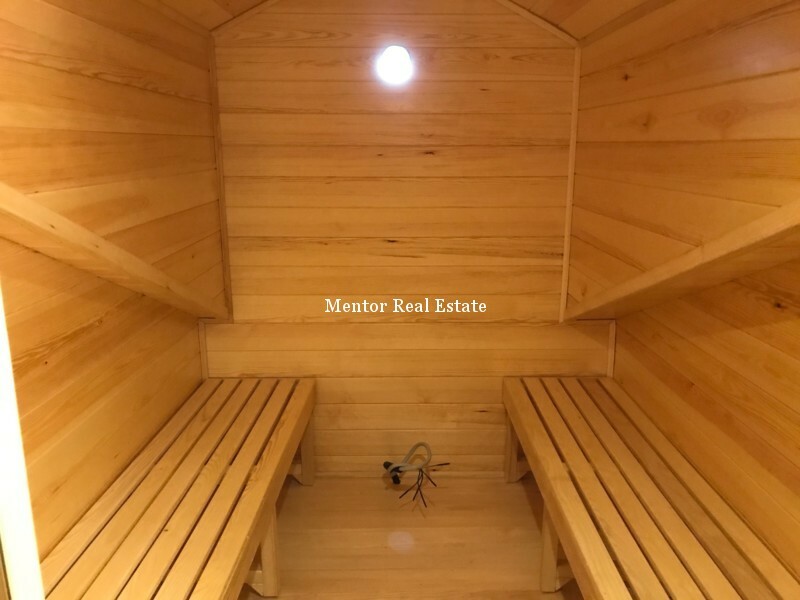 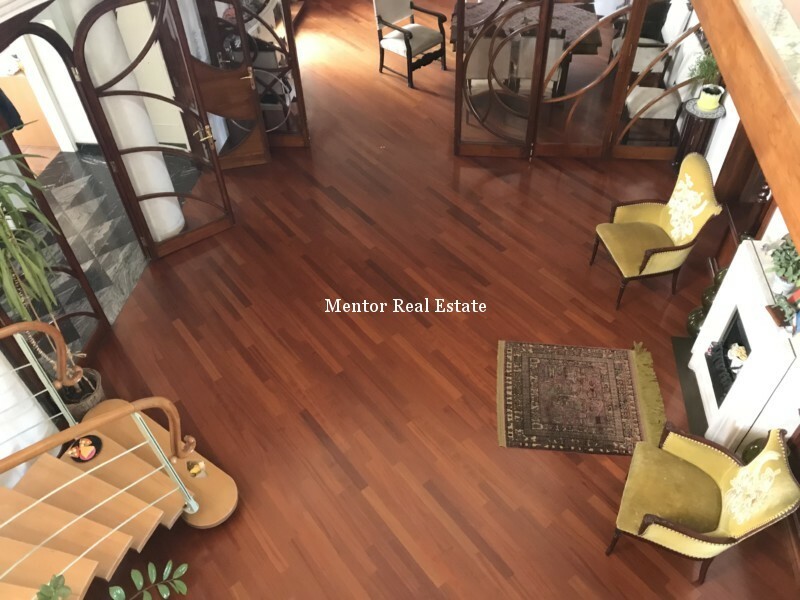 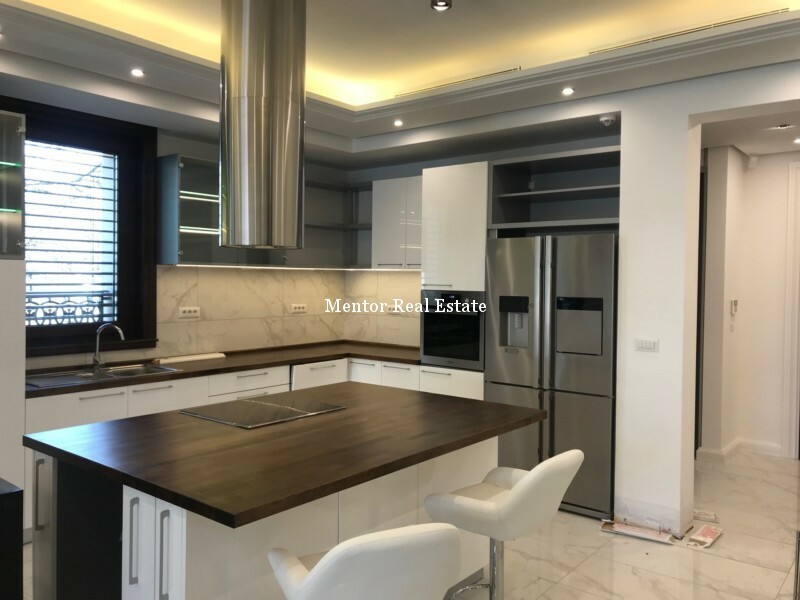 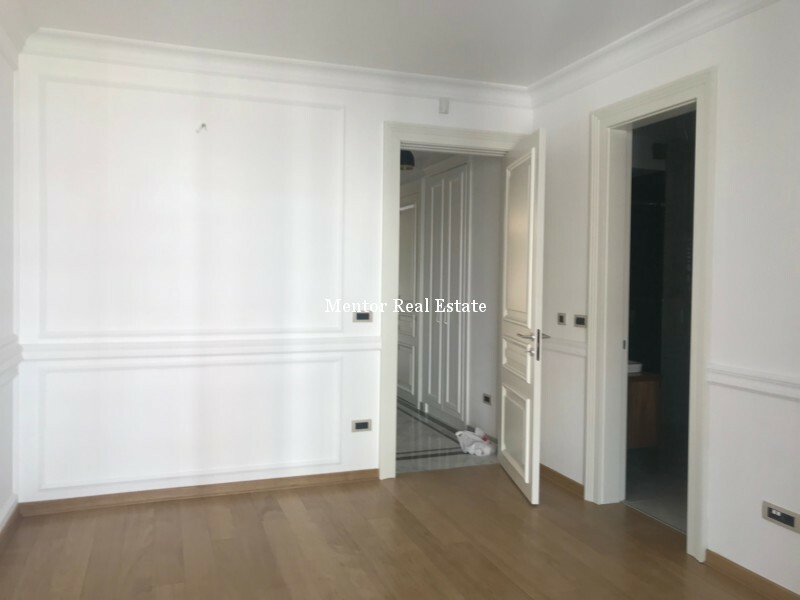 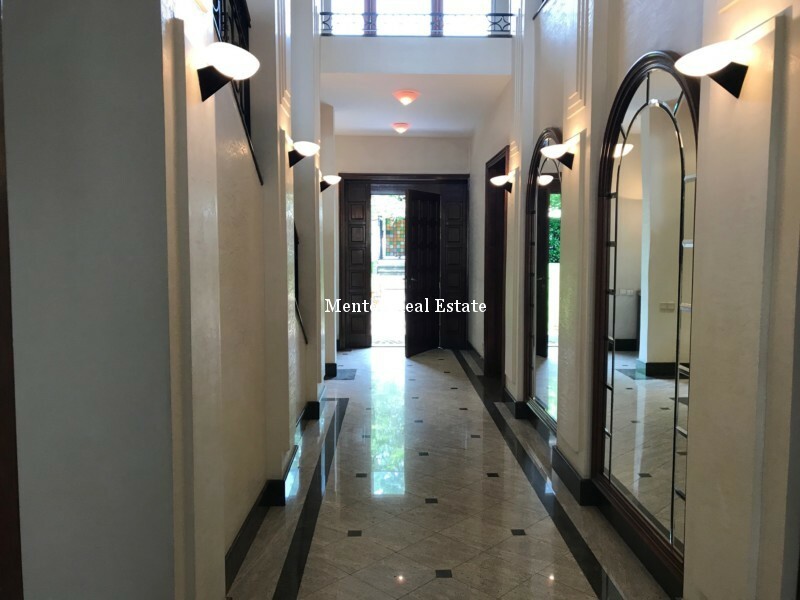 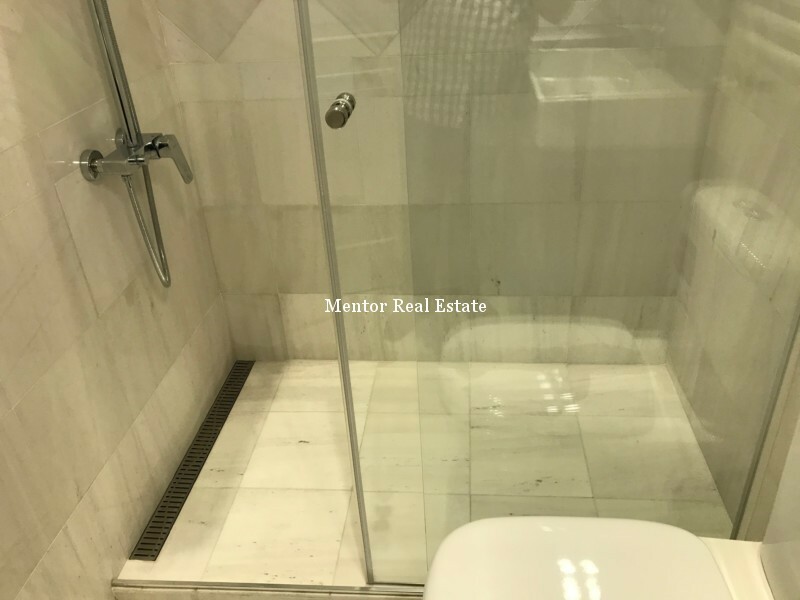 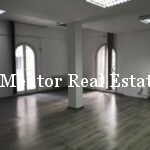 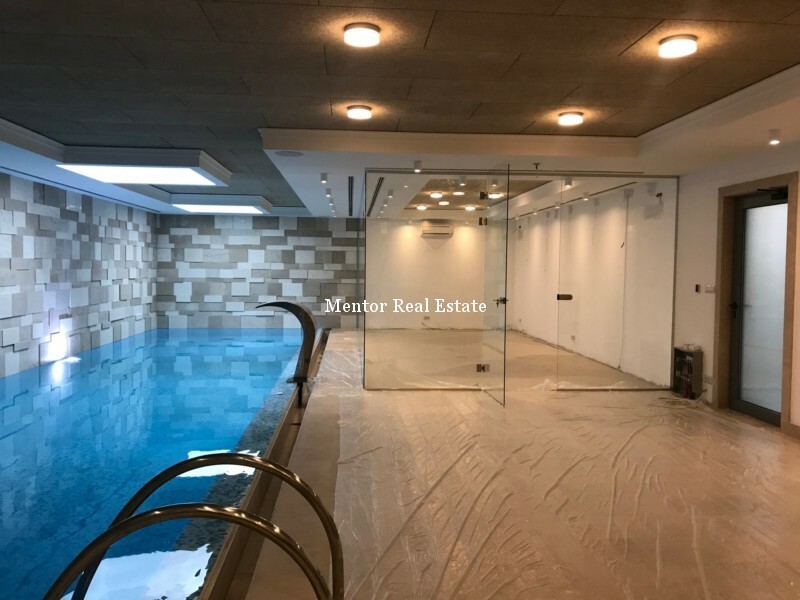 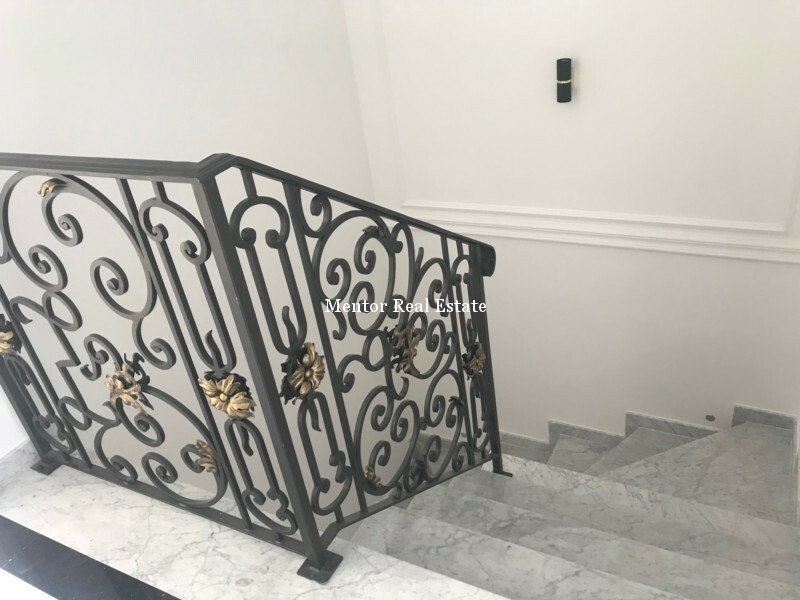 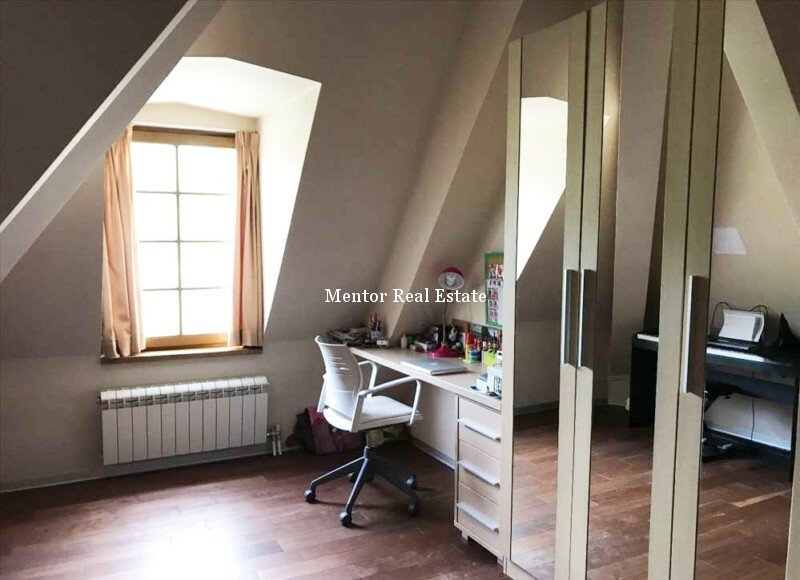 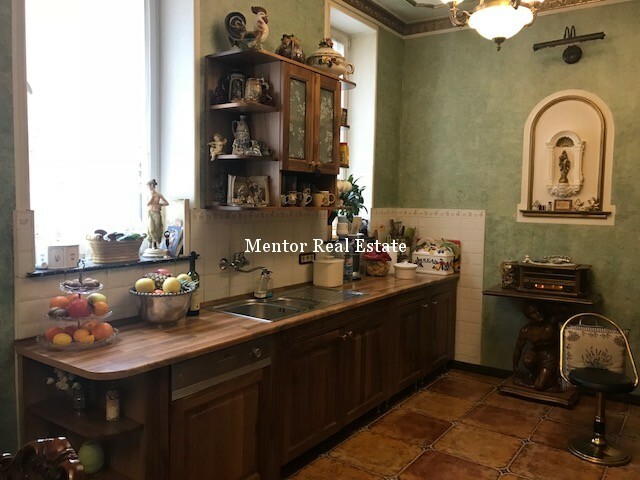 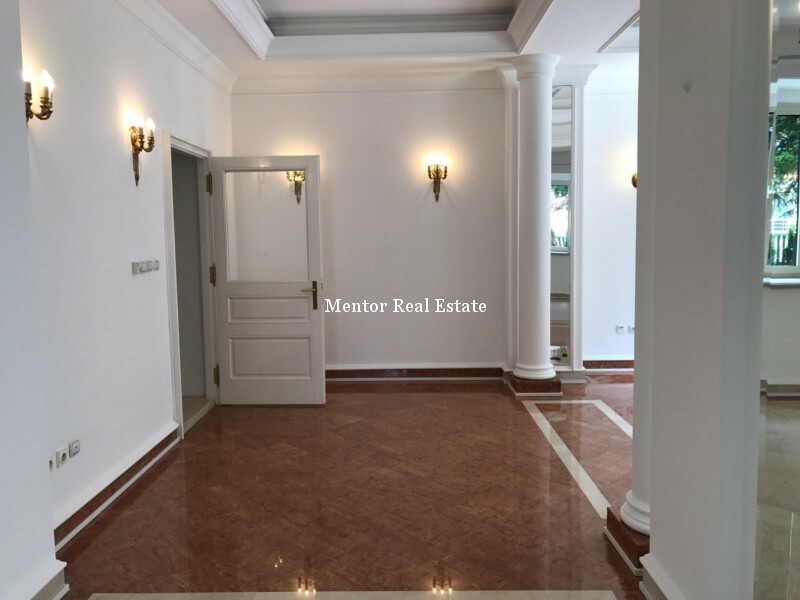 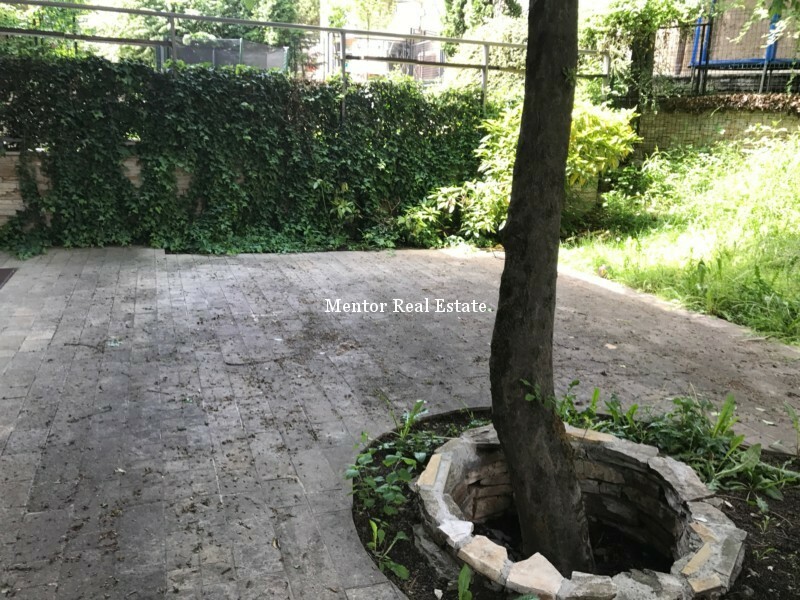 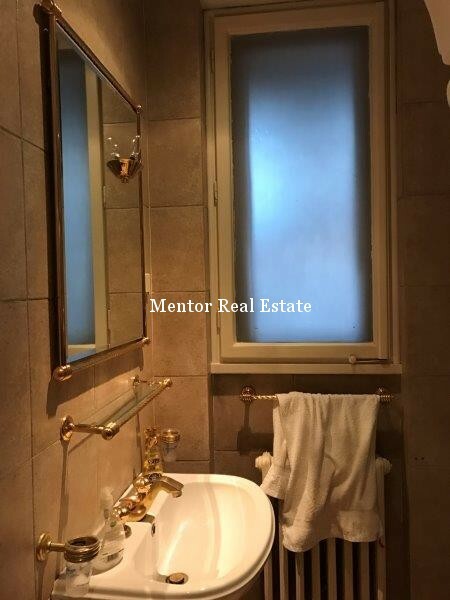 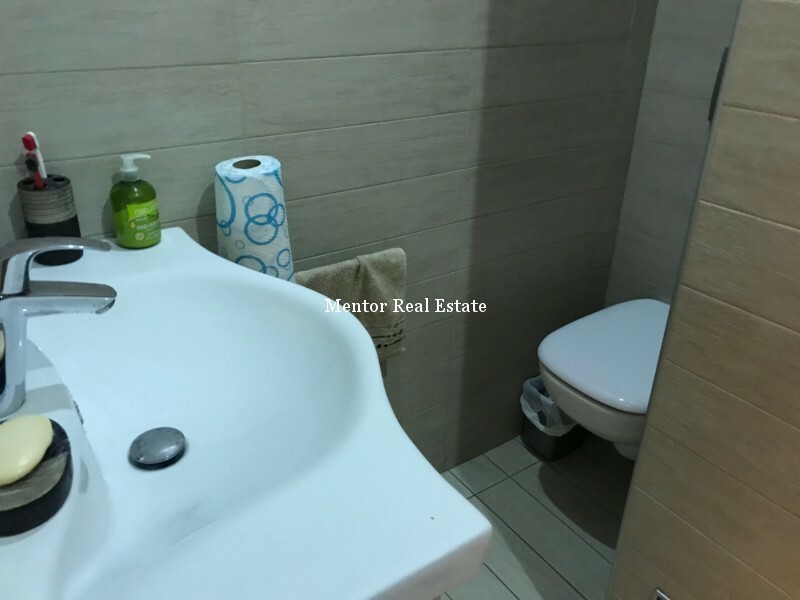 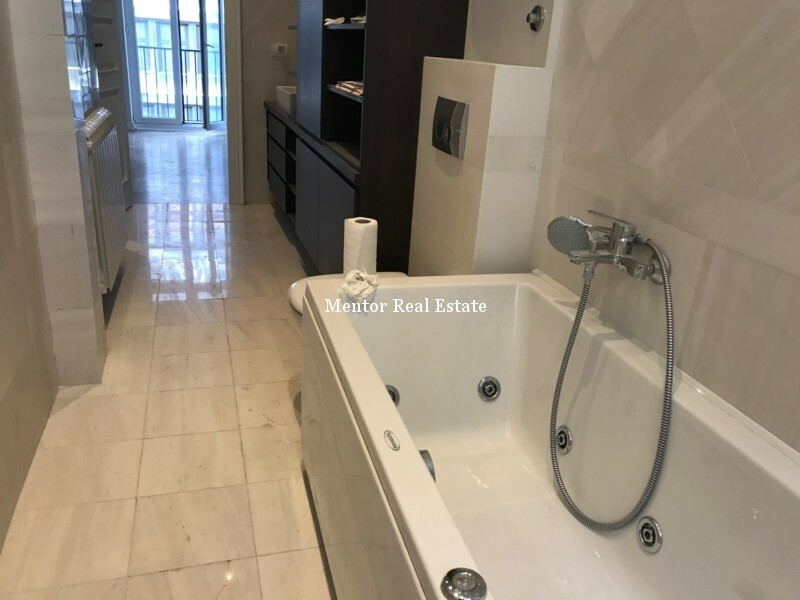 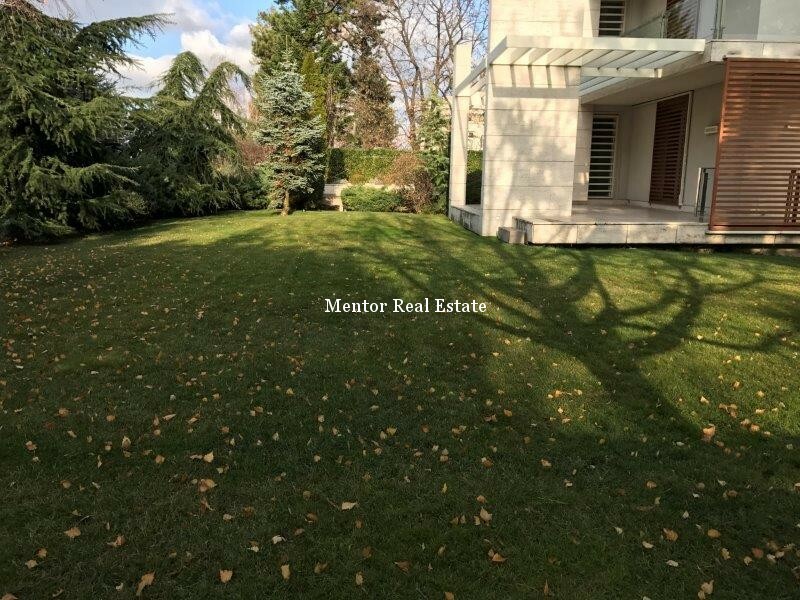 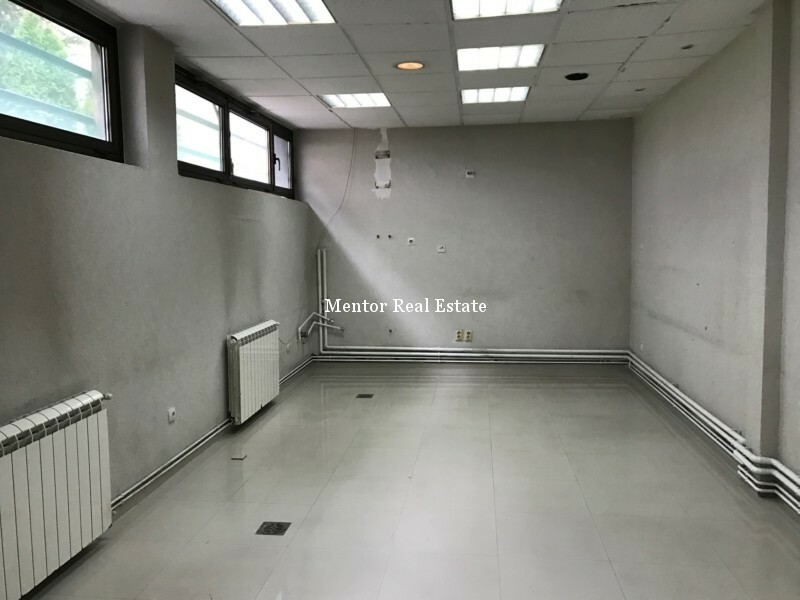 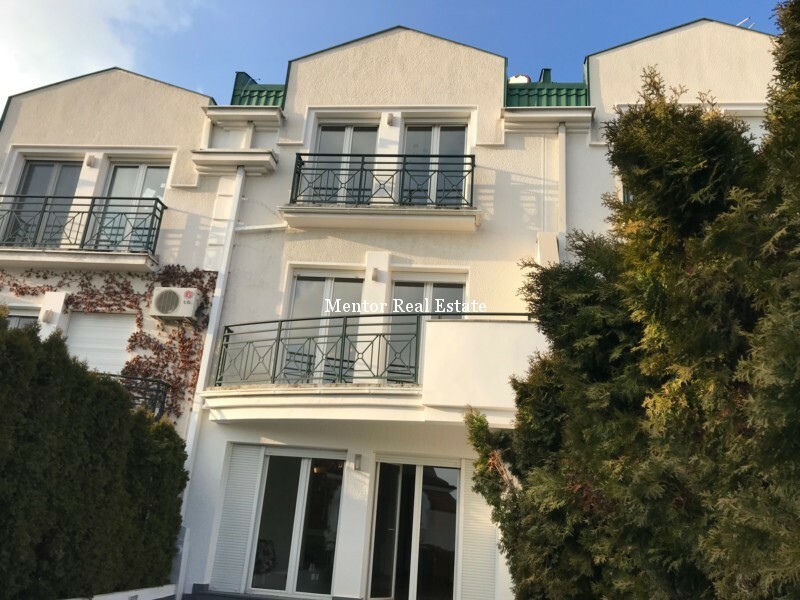 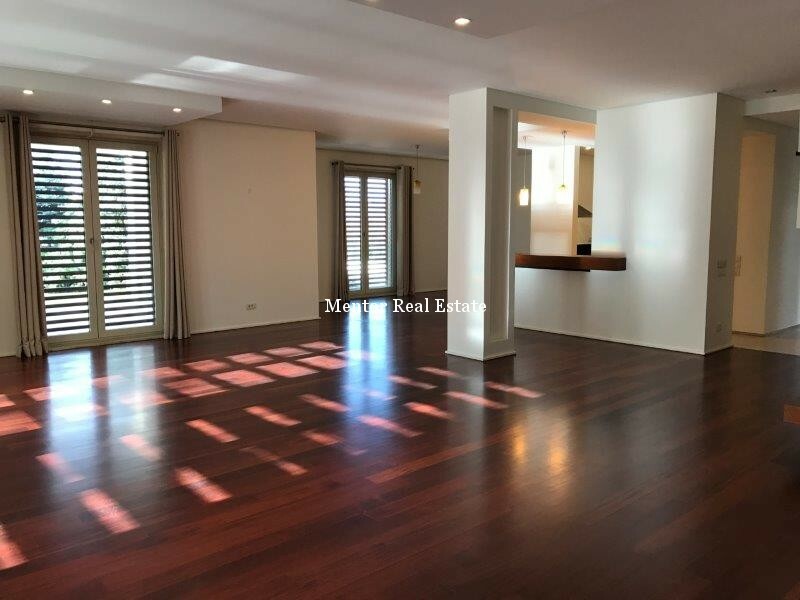 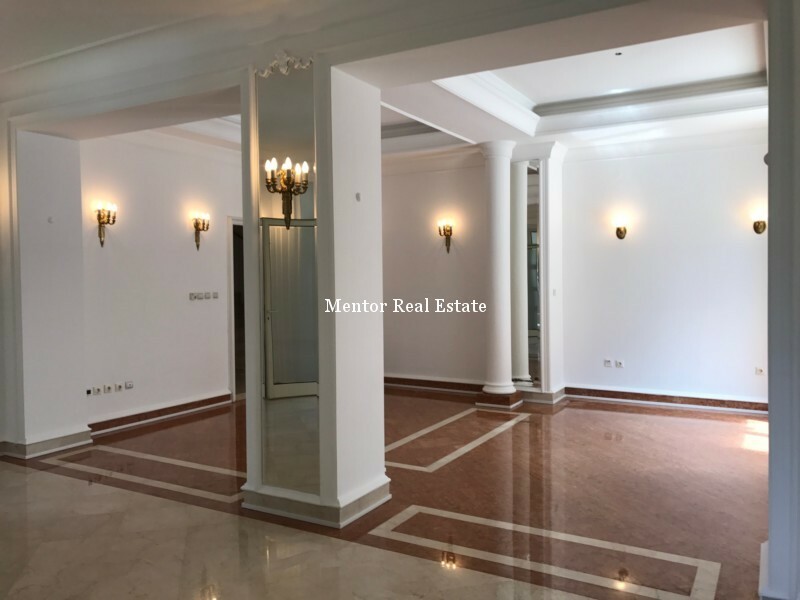 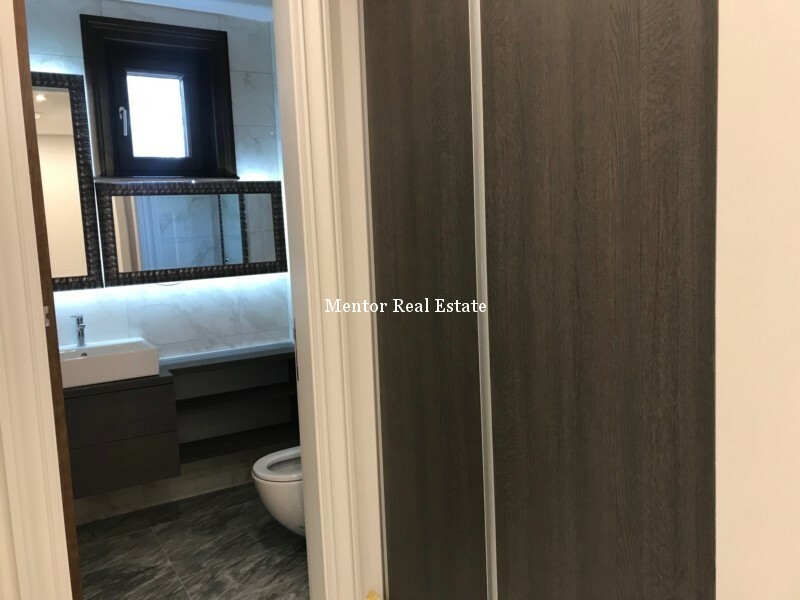 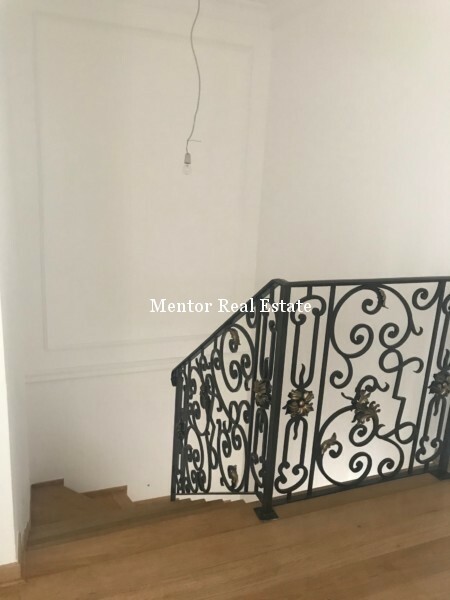 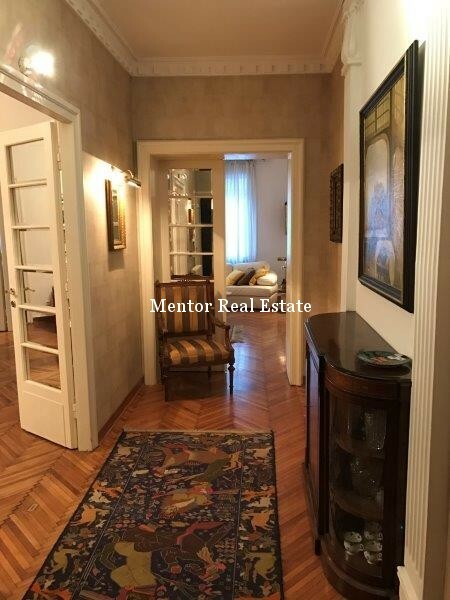 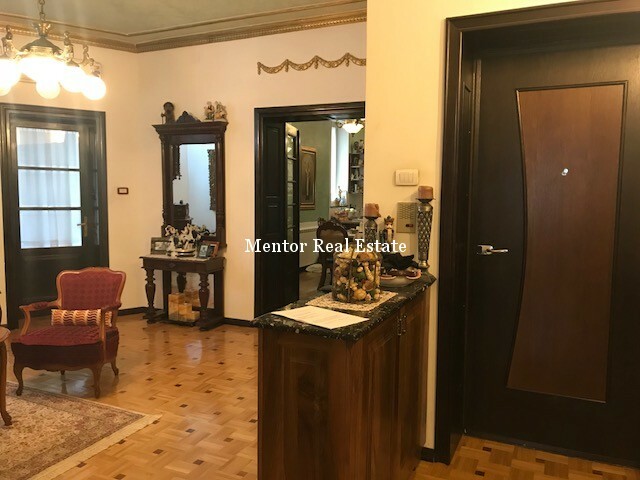 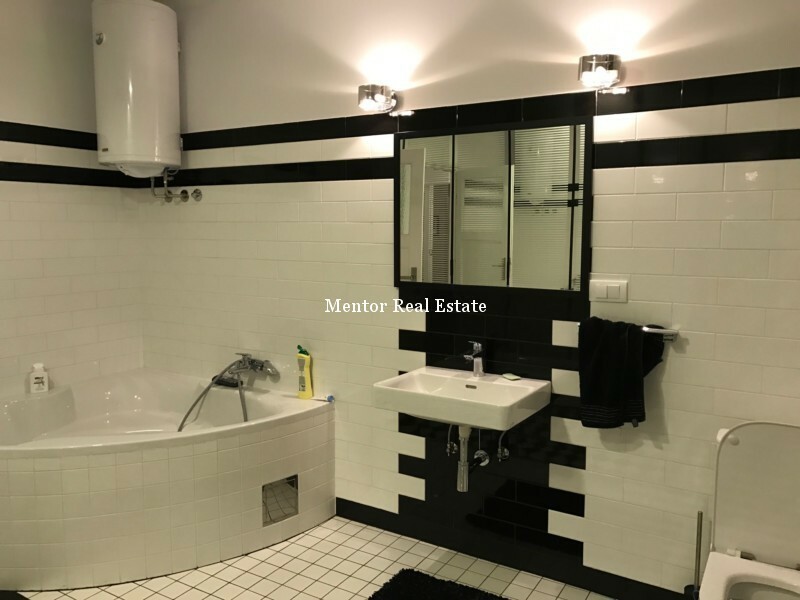 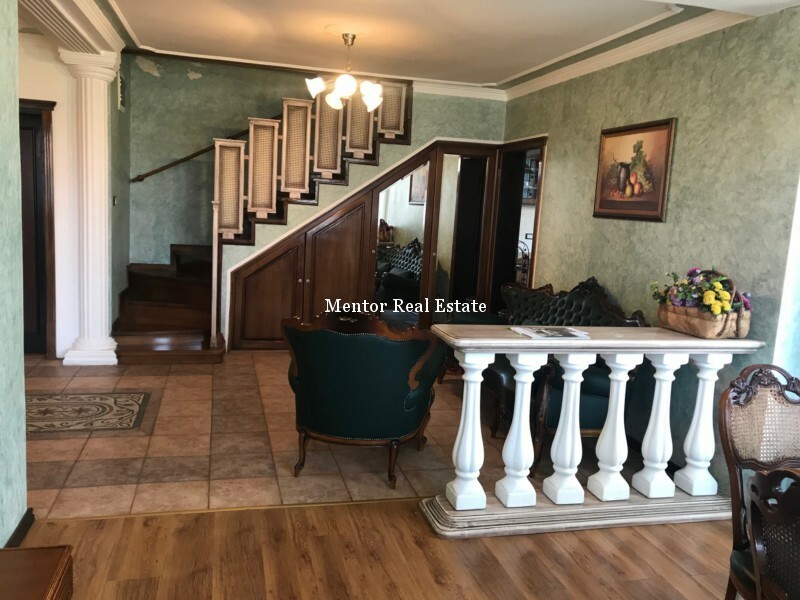 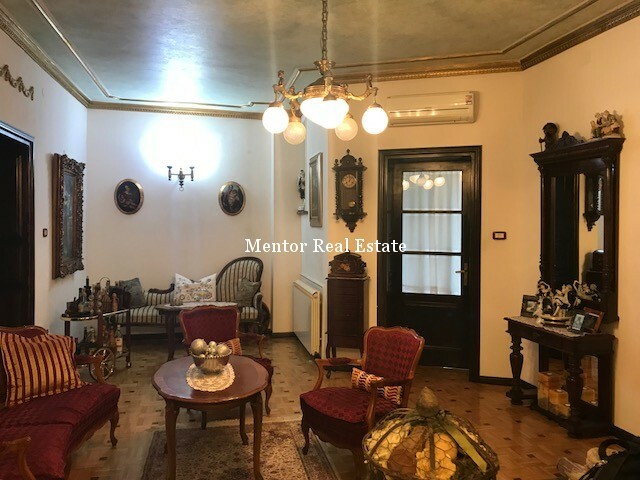 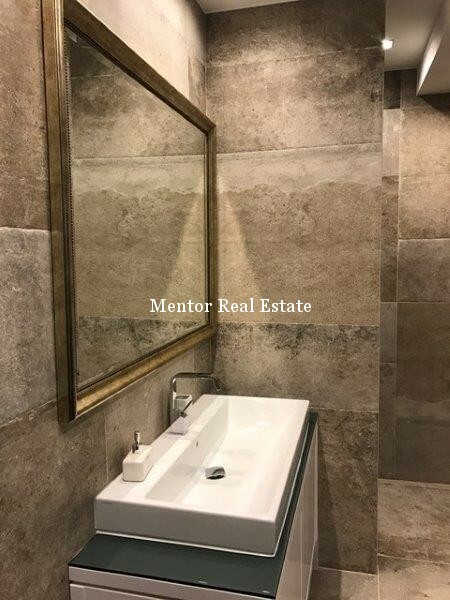 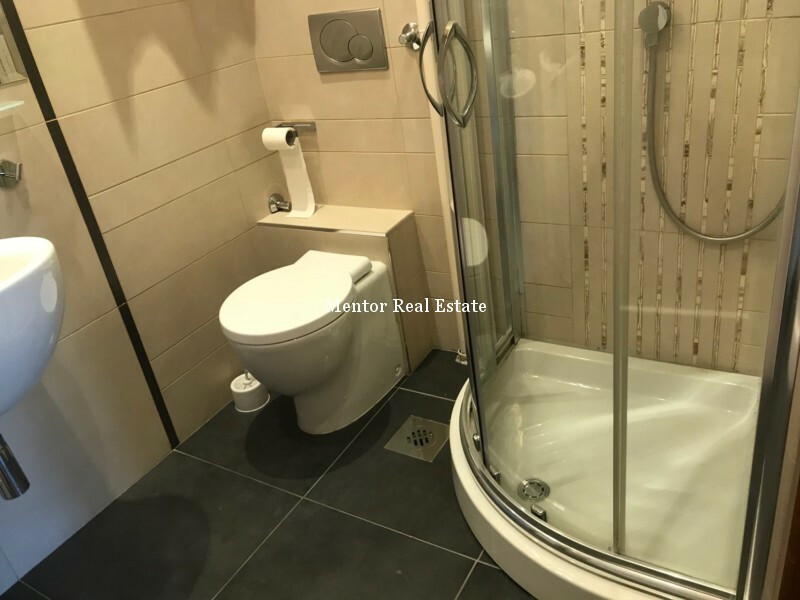 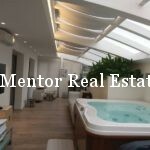 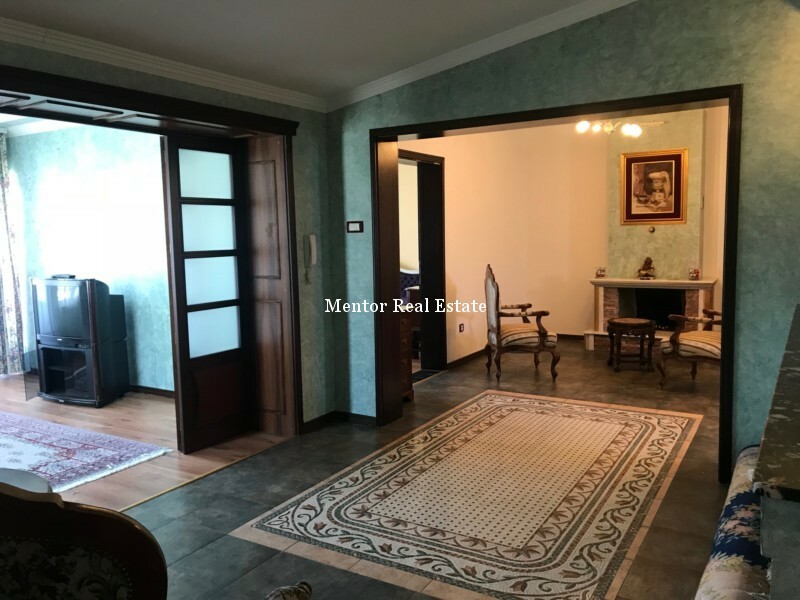 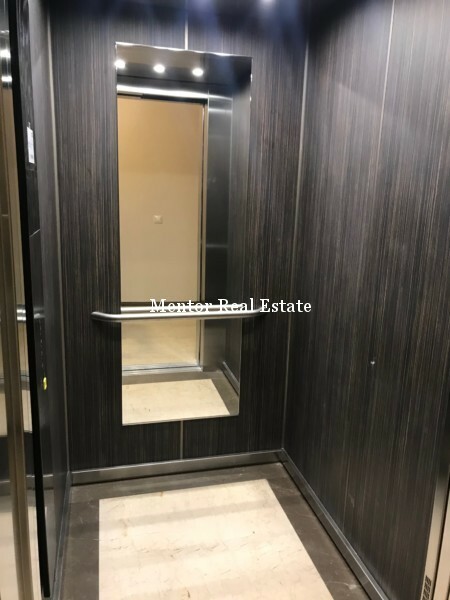 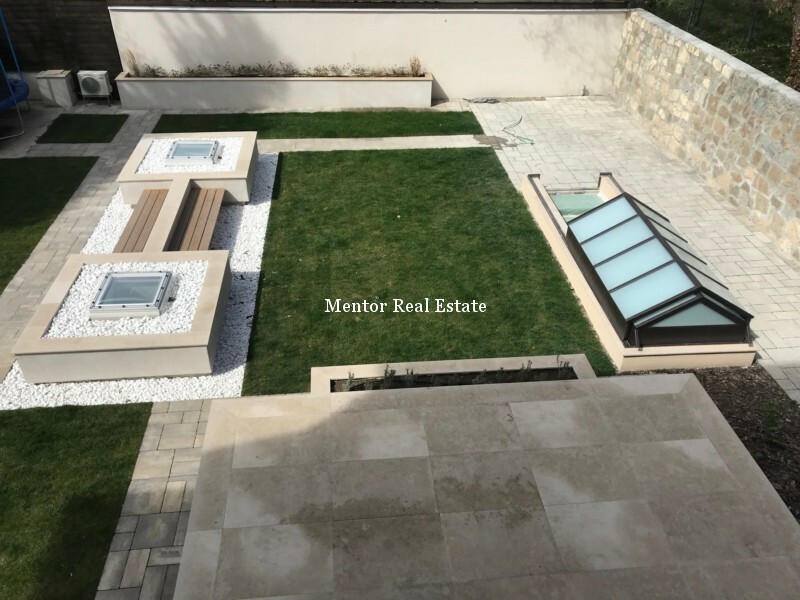 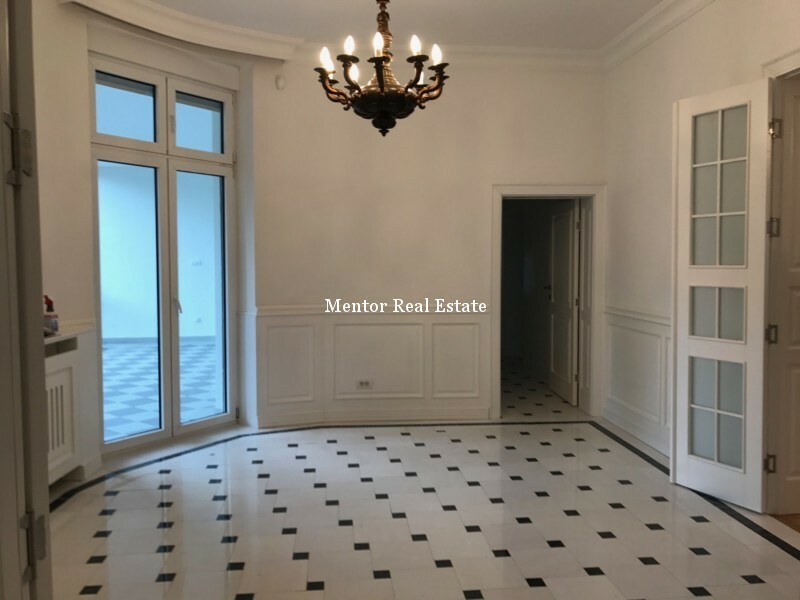 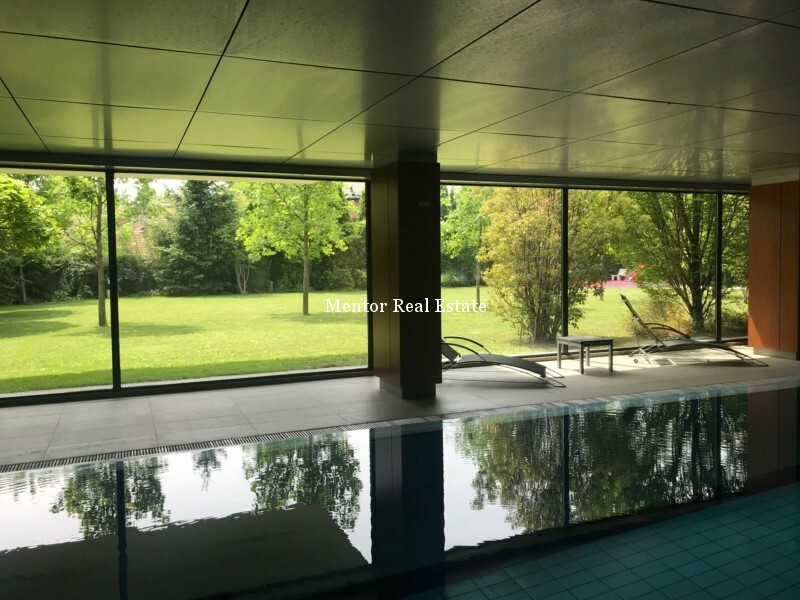 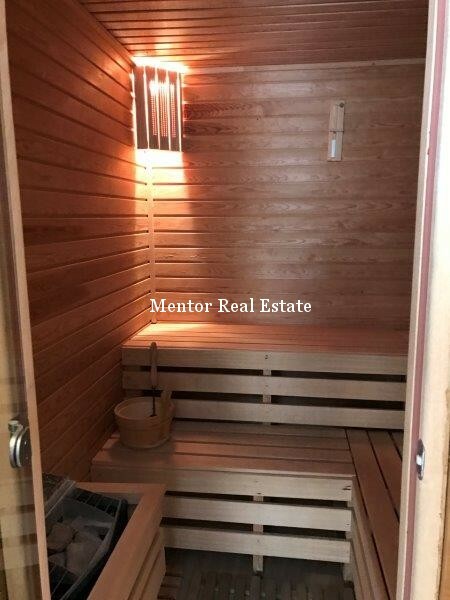 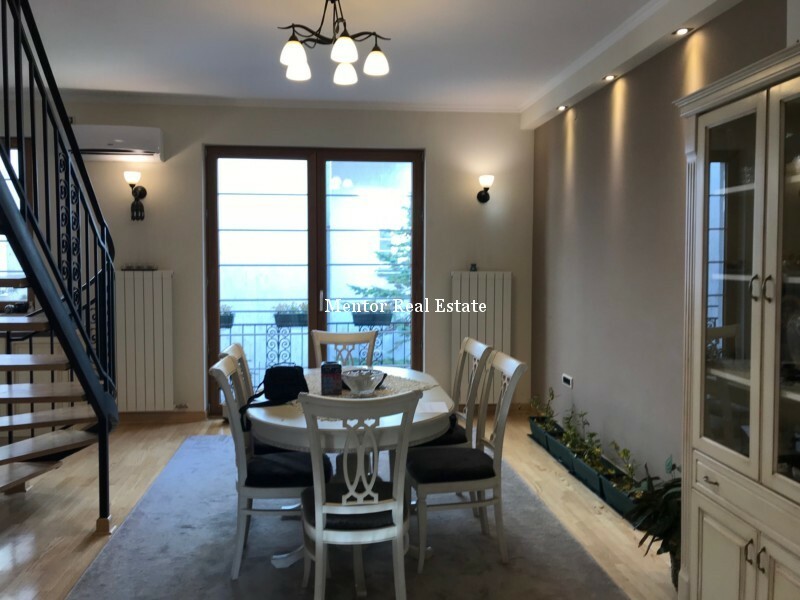 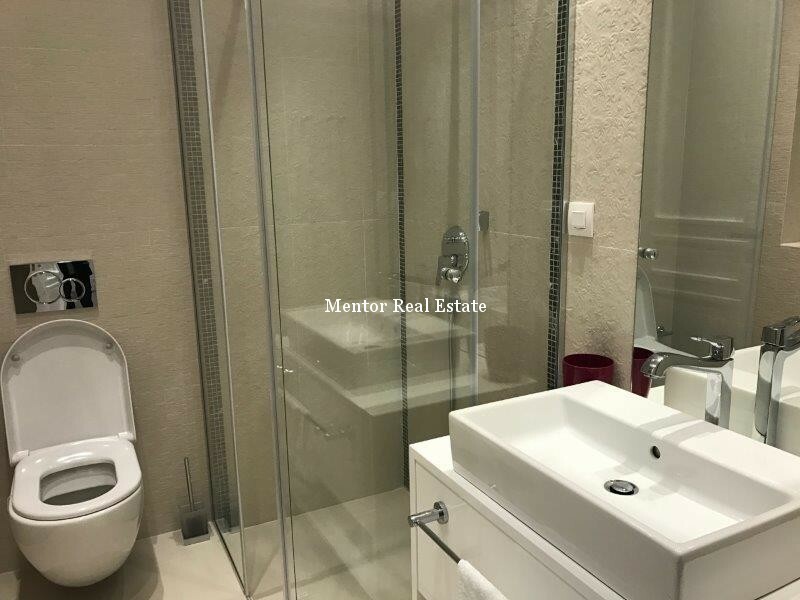 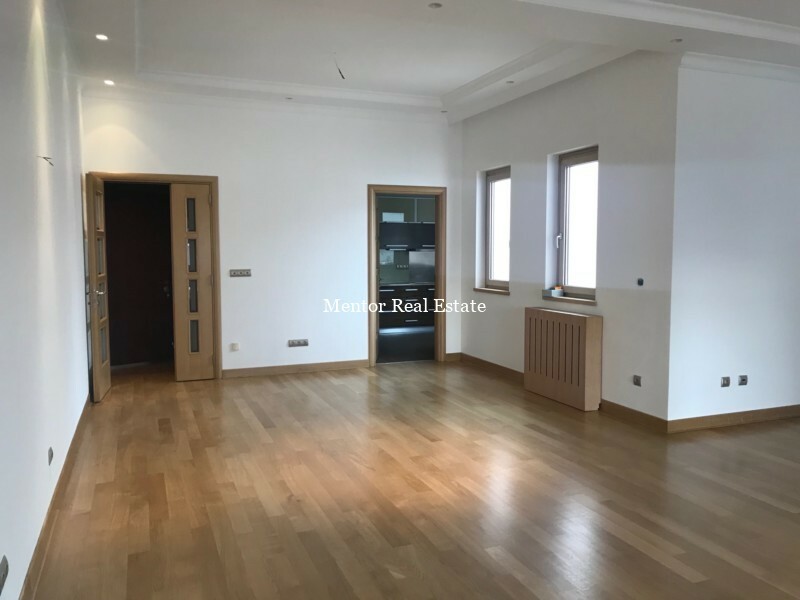 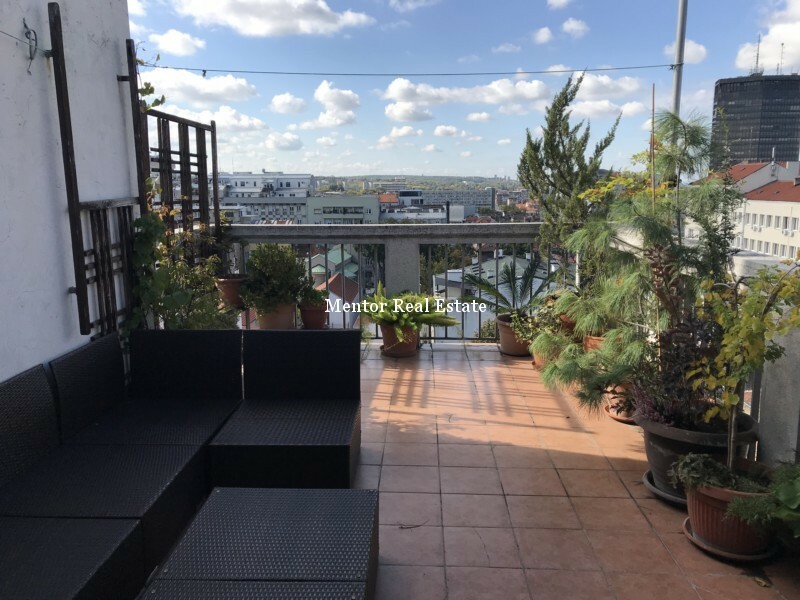 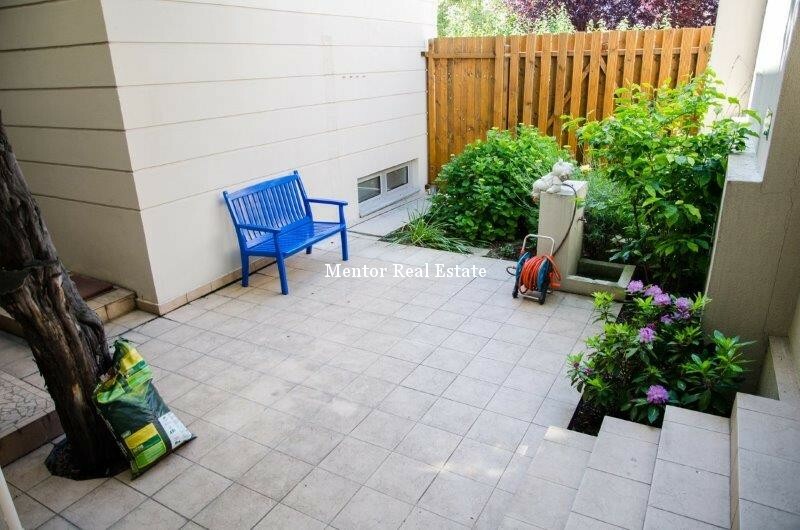 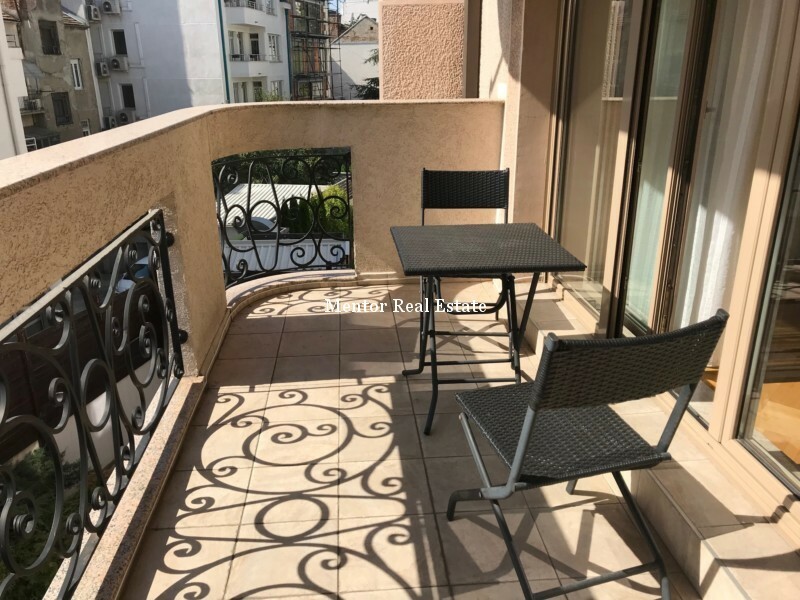 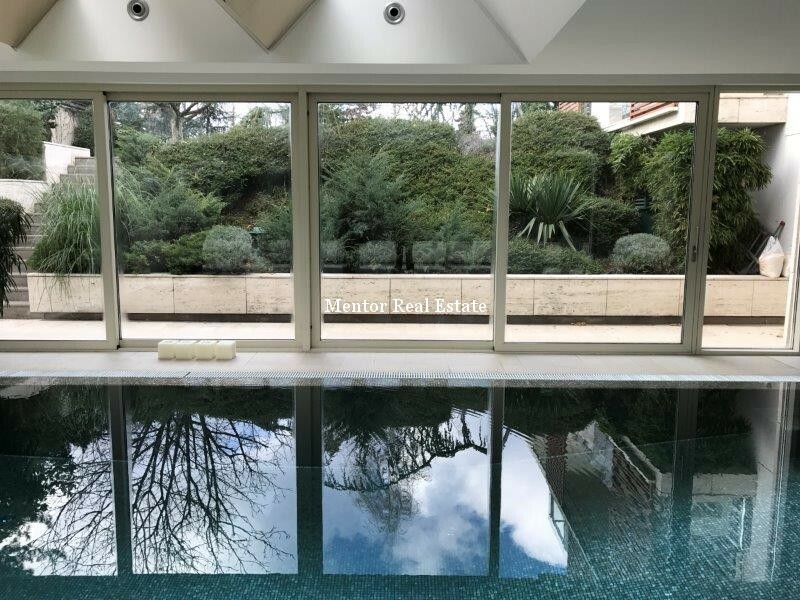 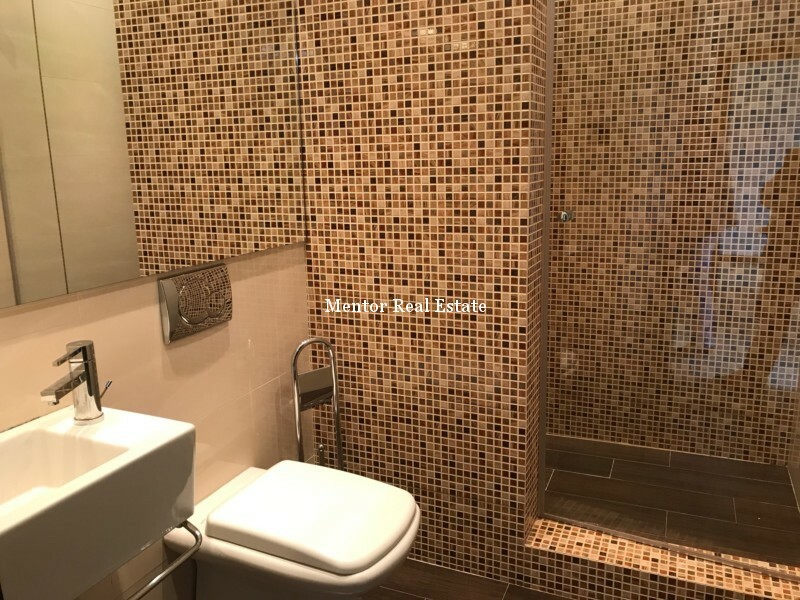 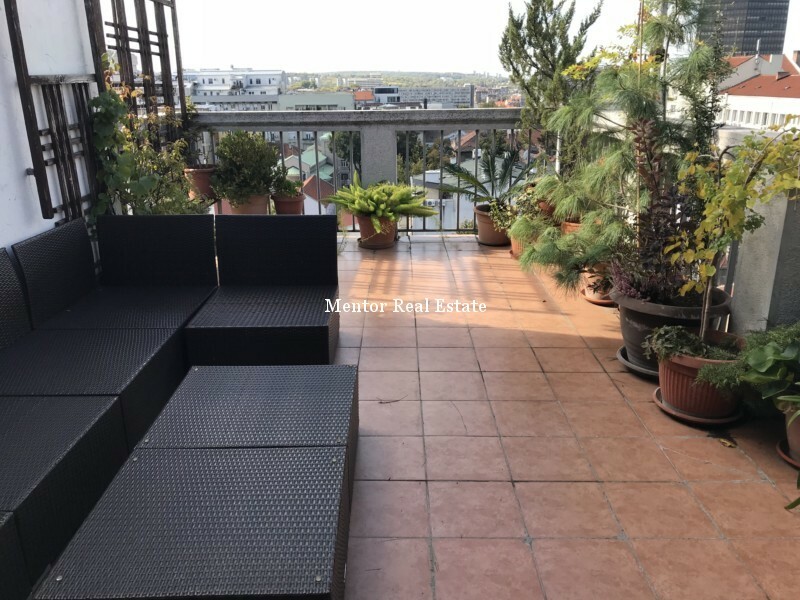 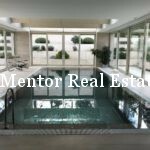 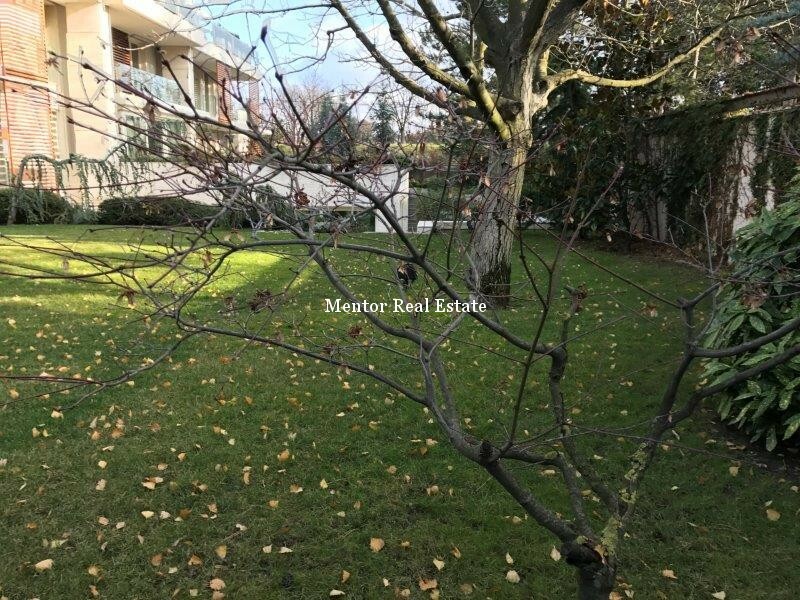 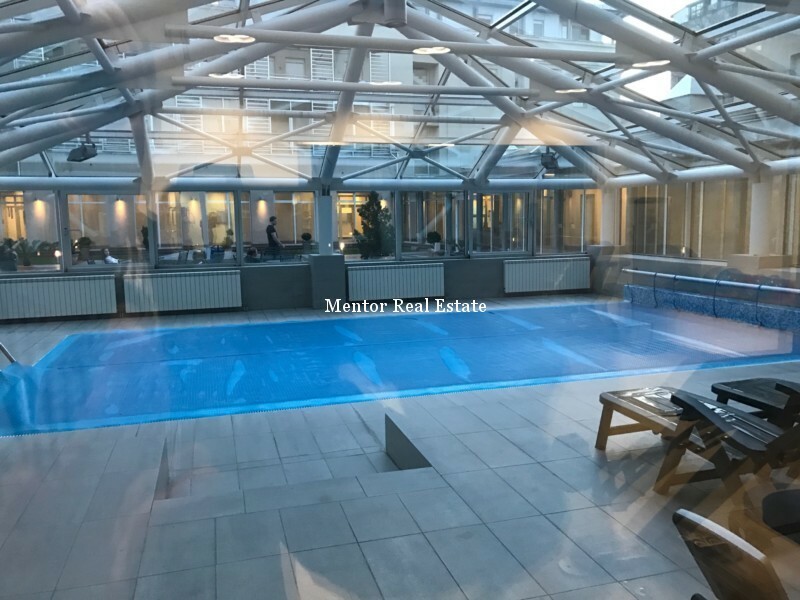 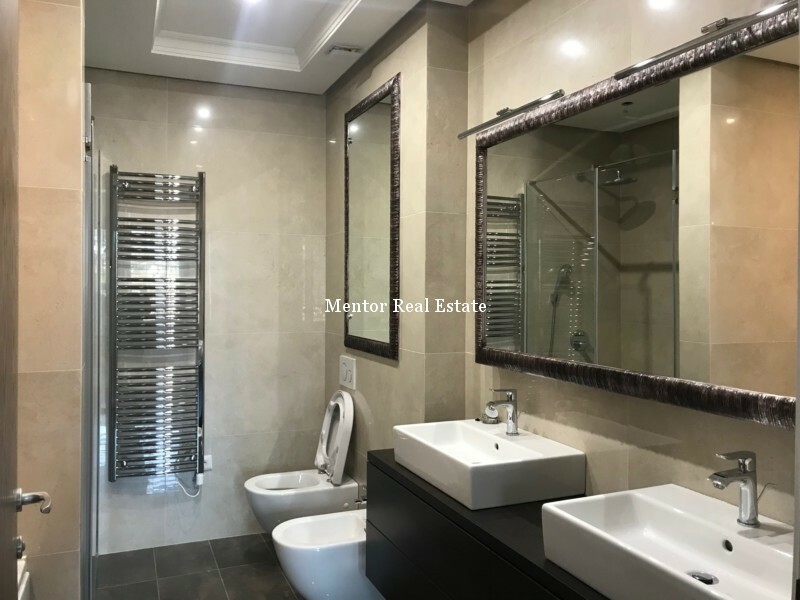 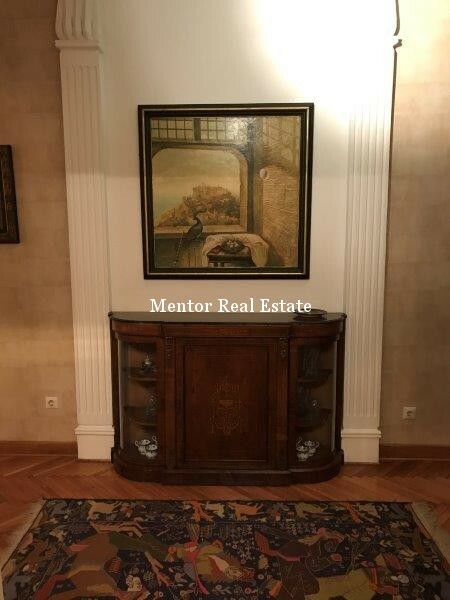 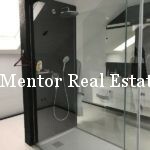 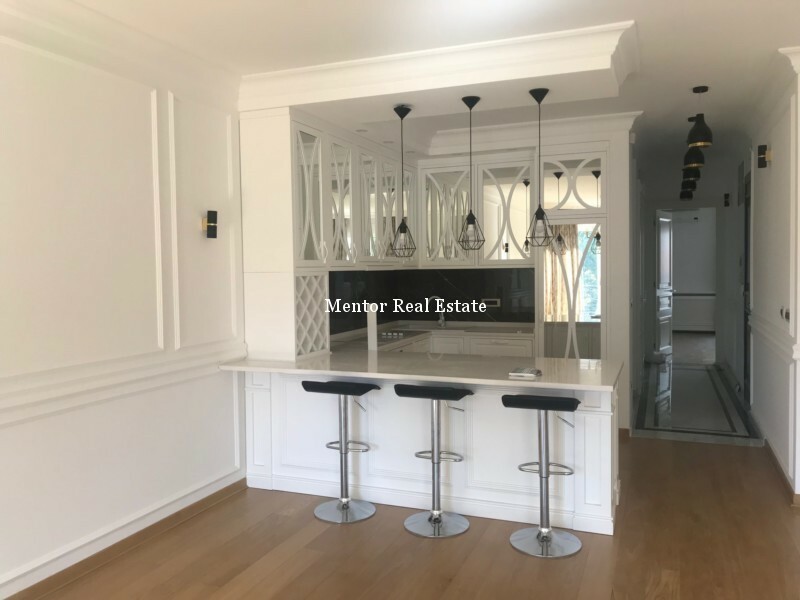 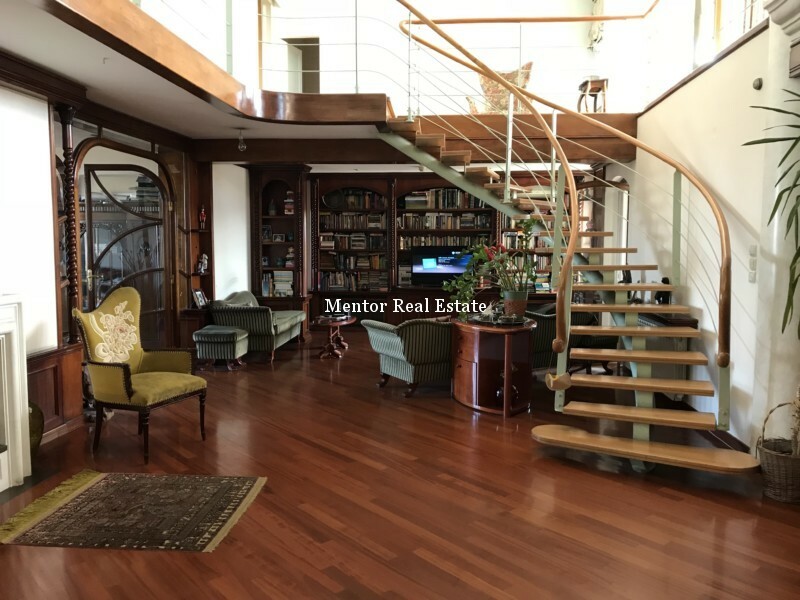 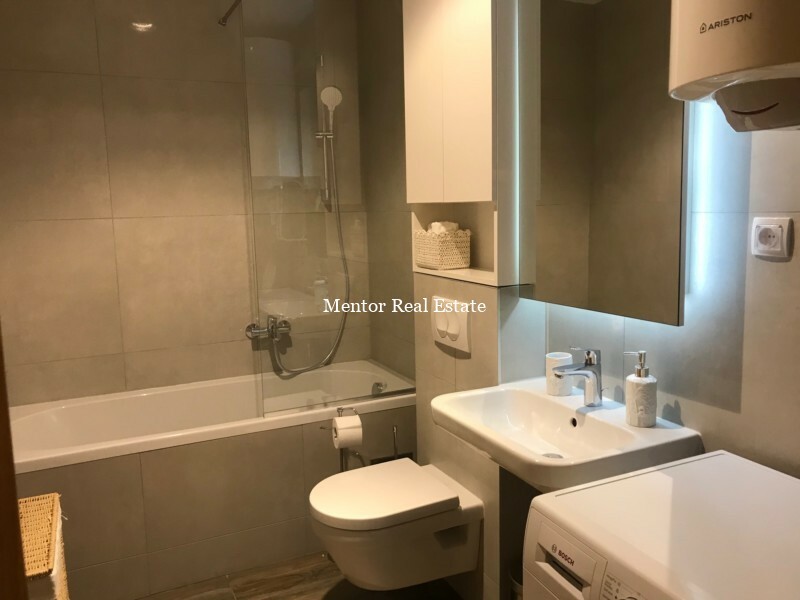 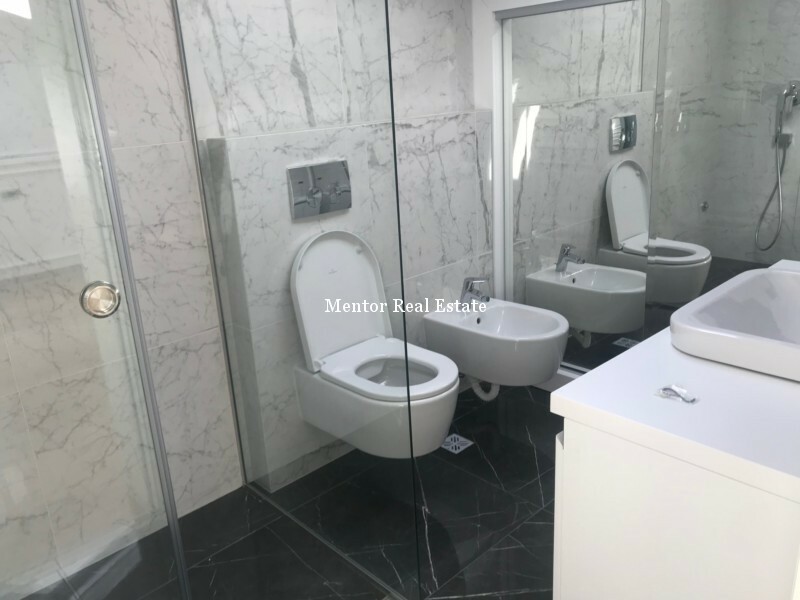 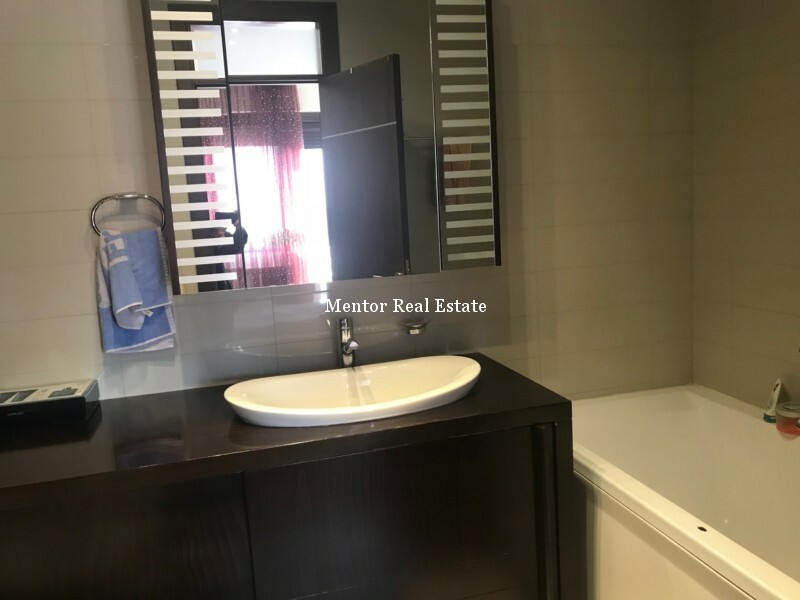 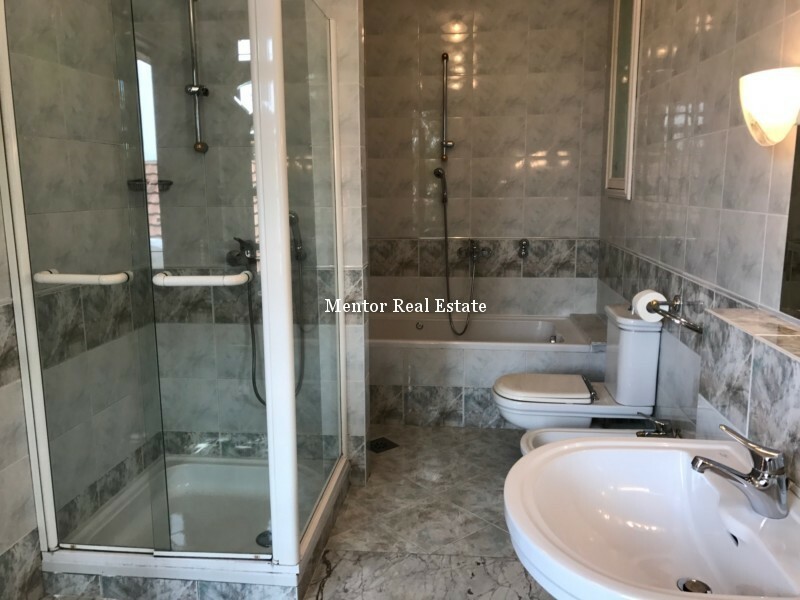 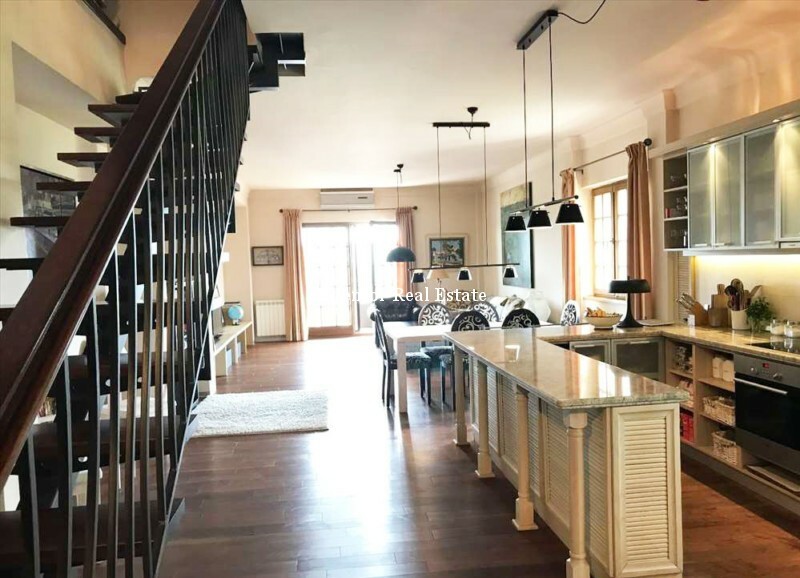 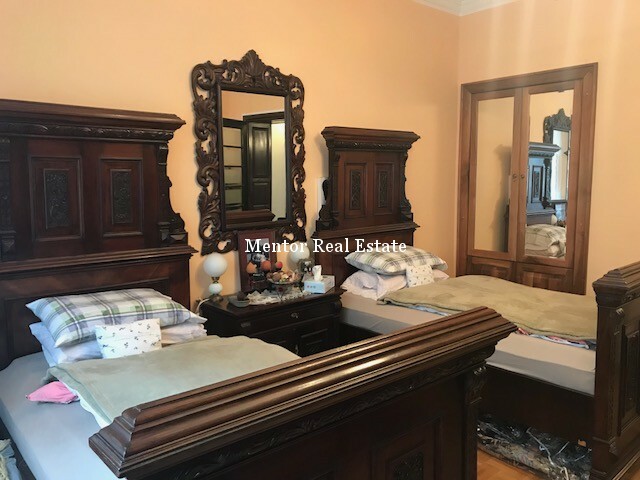 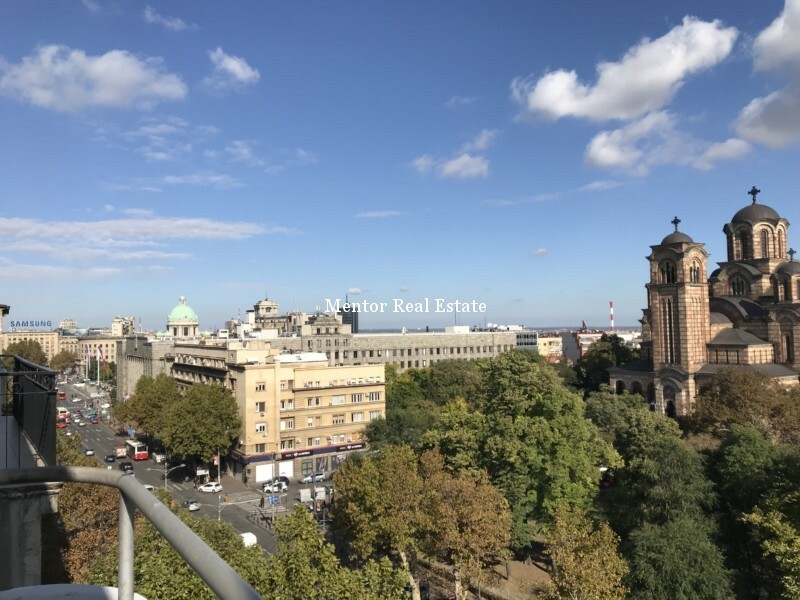 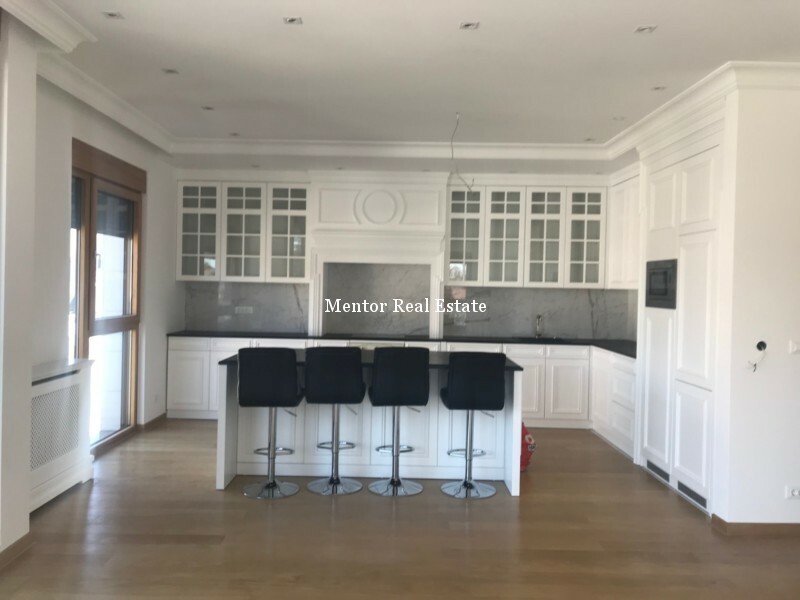 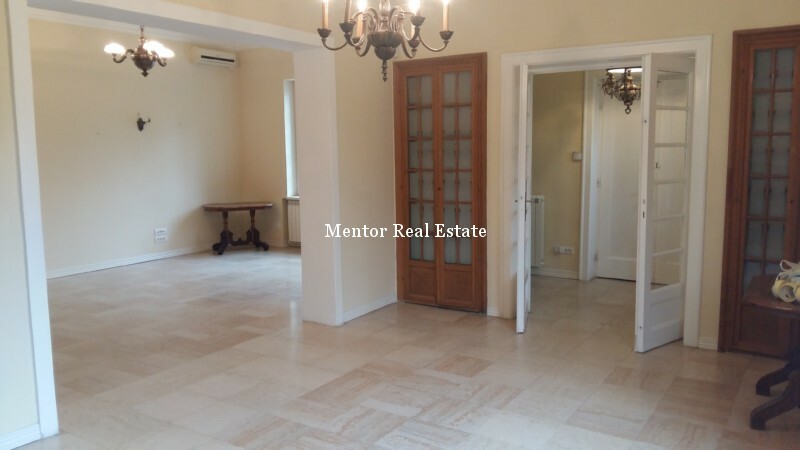 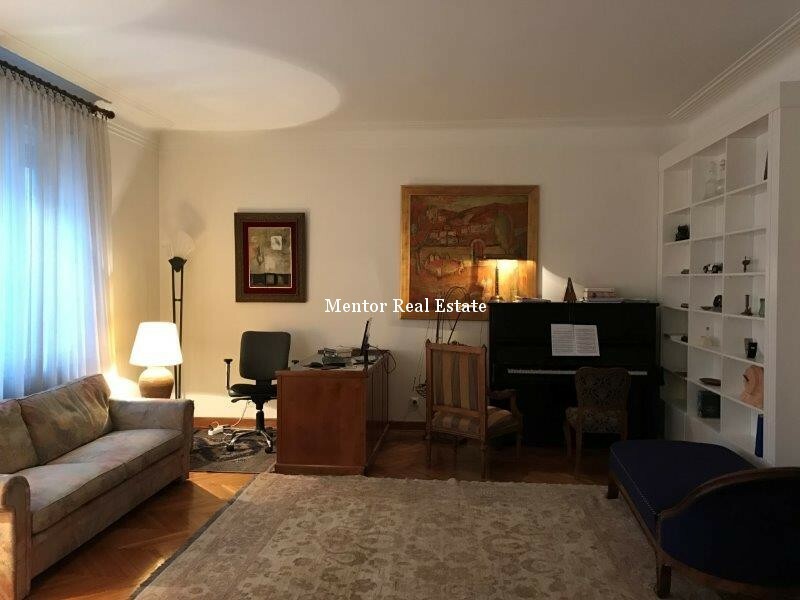 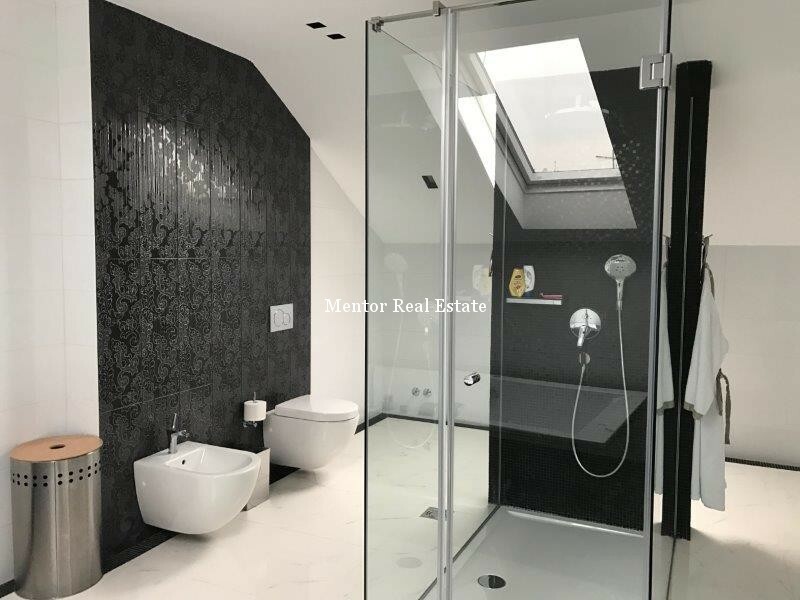 In the most of the cases foreign diplomats are looking for the properties that are special and different in comparison with those offered at the market. 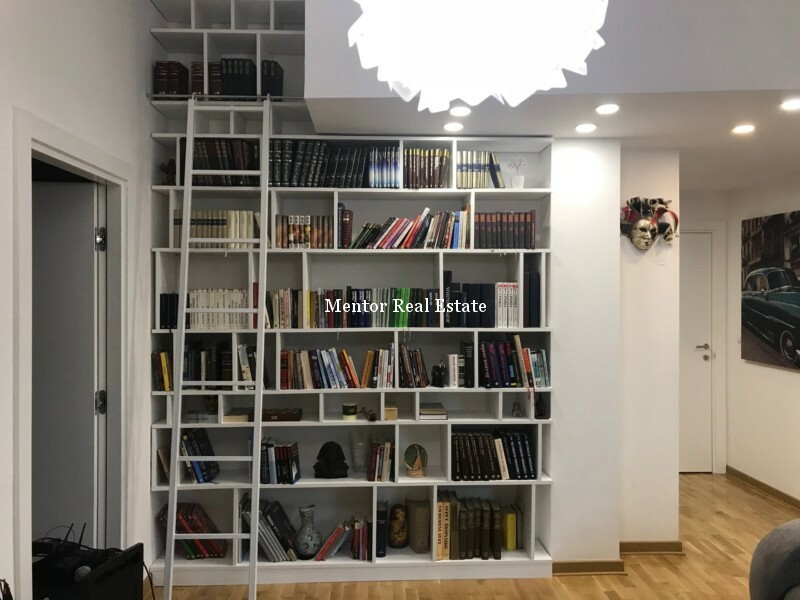 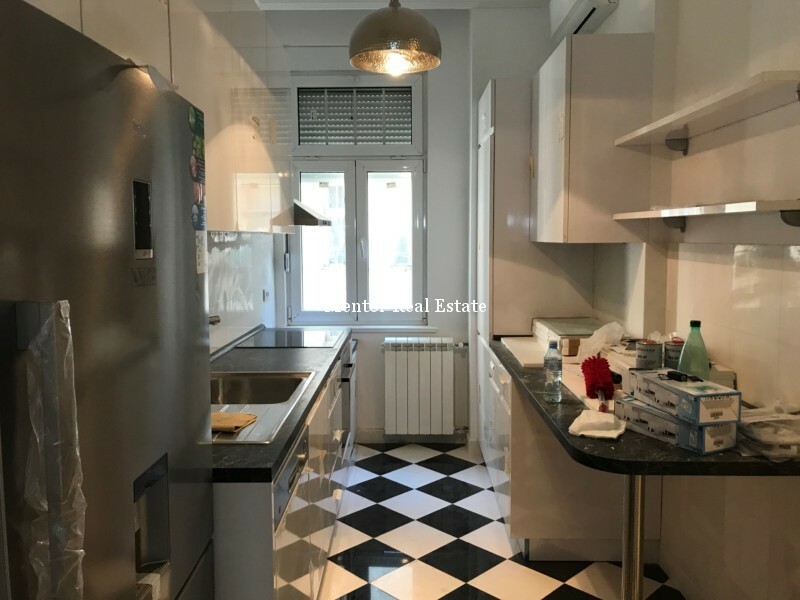 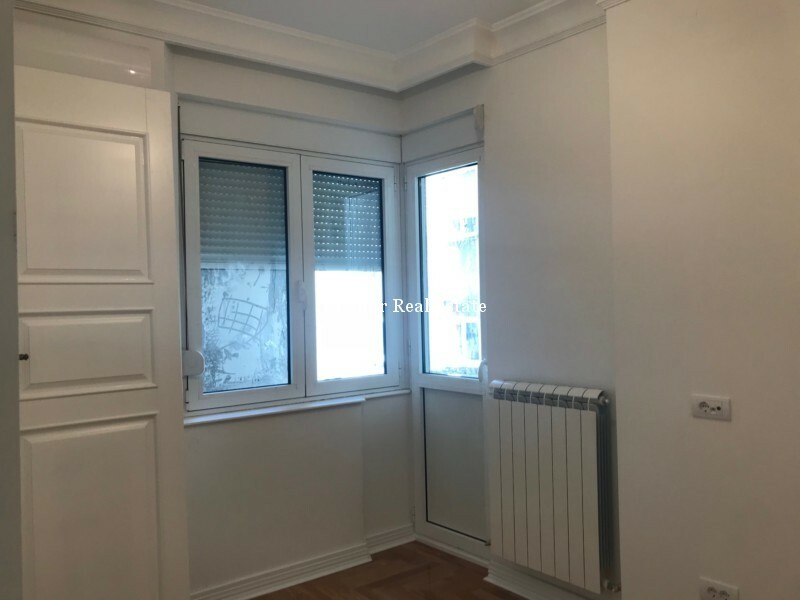 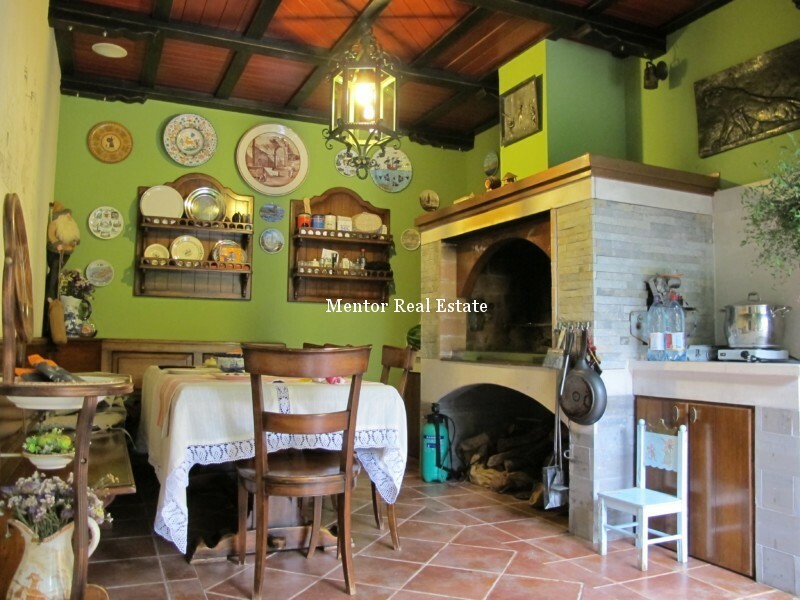 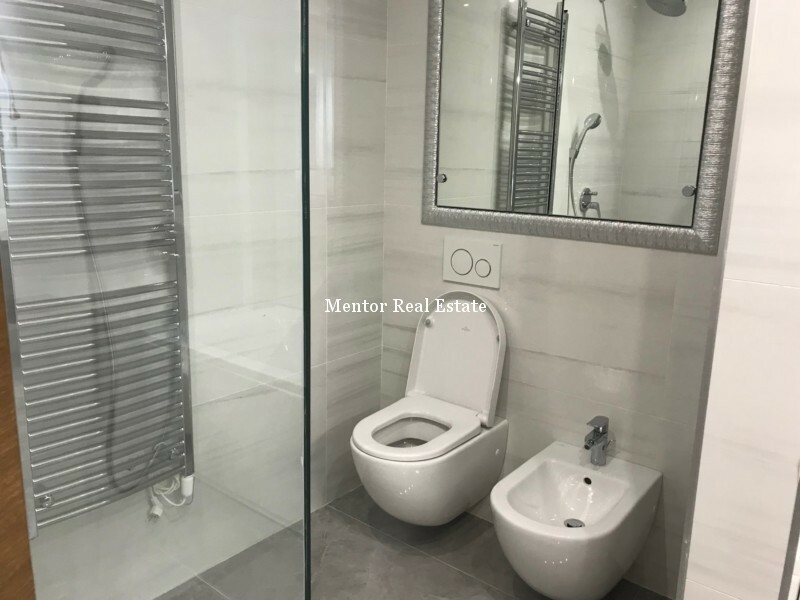 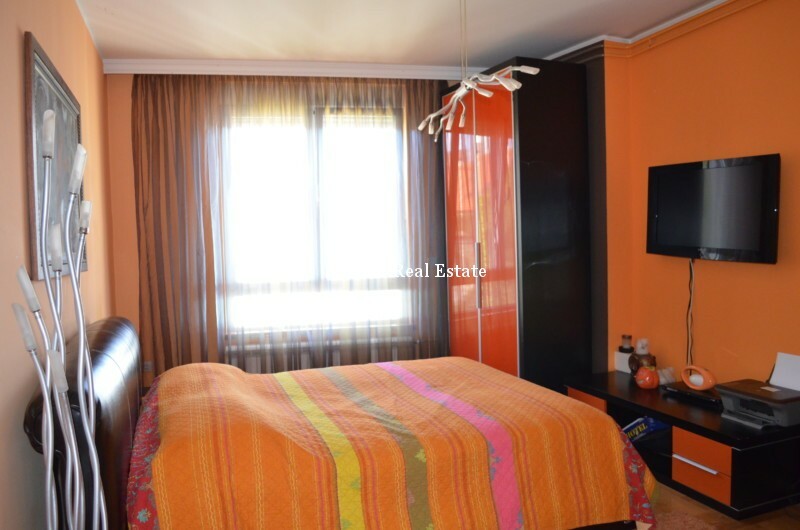 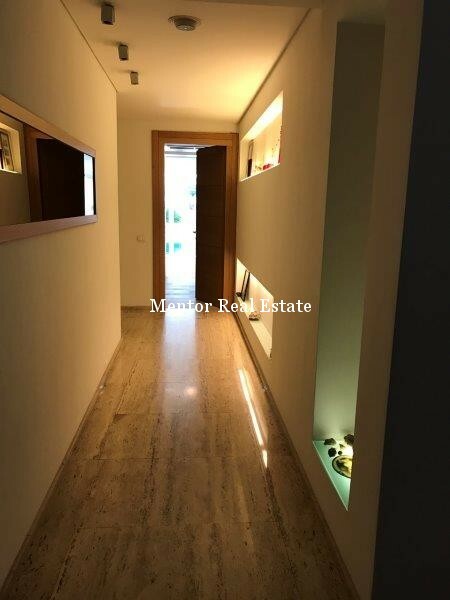 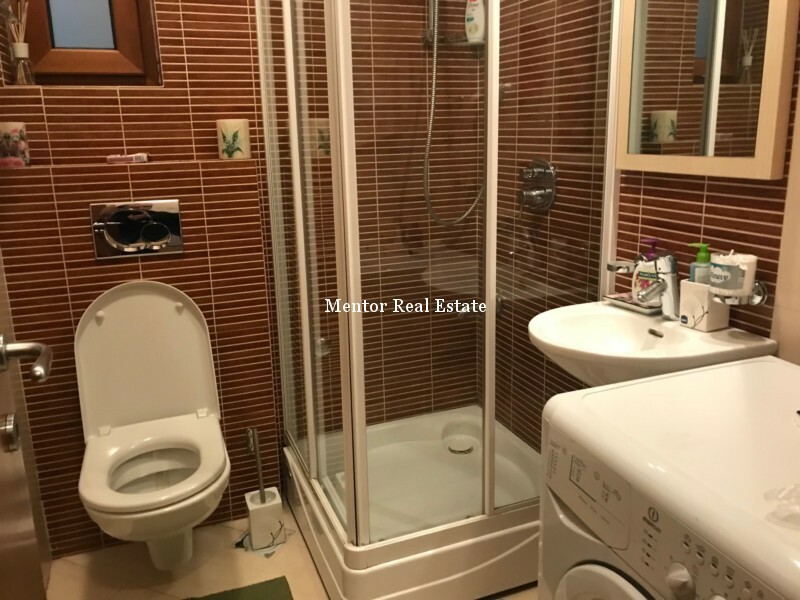 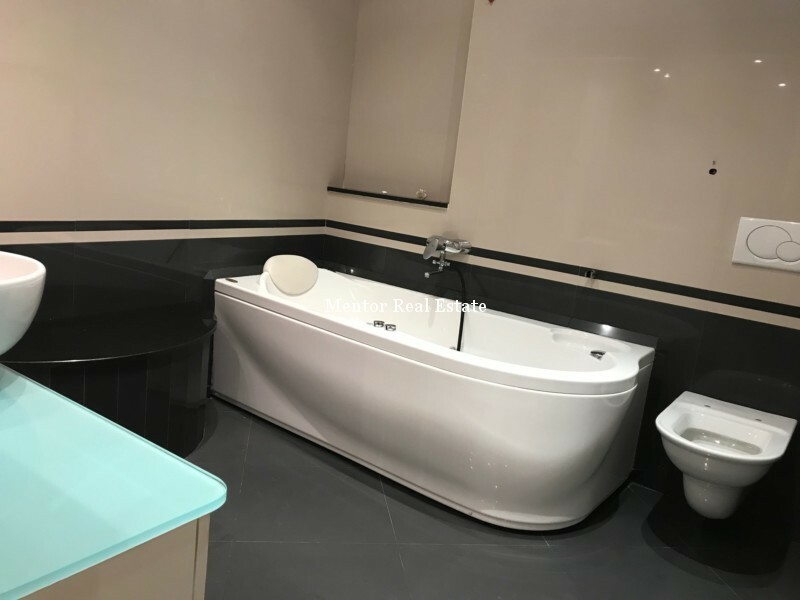 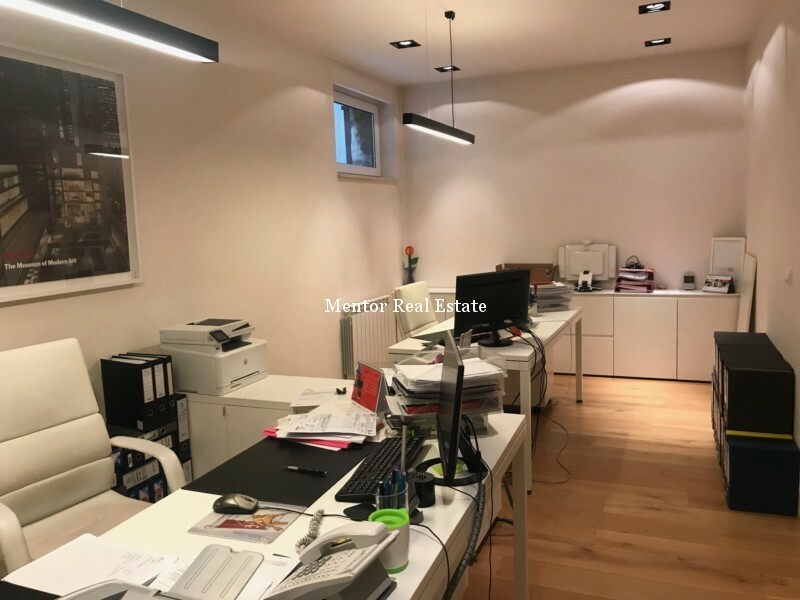 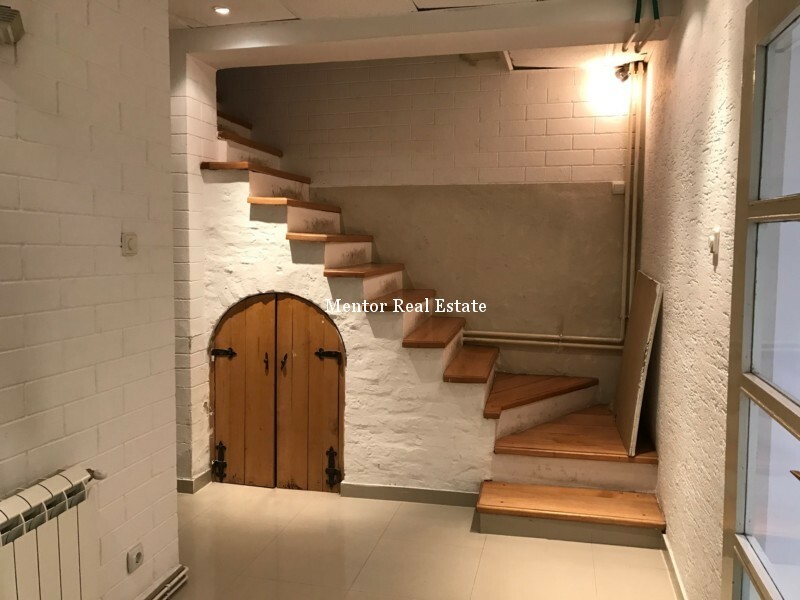 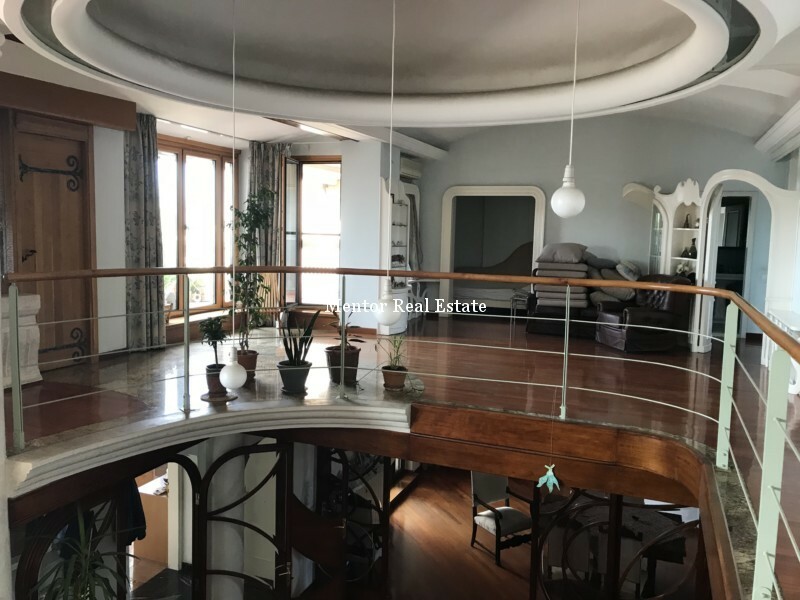 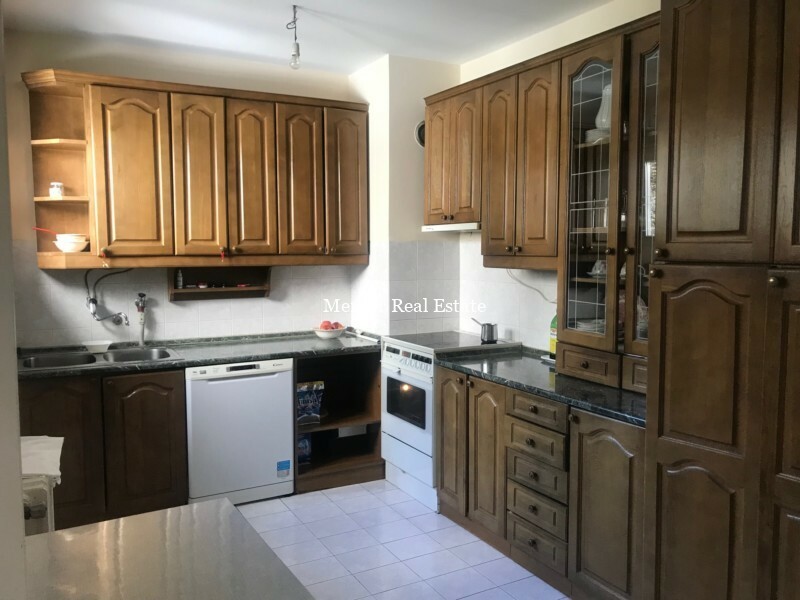 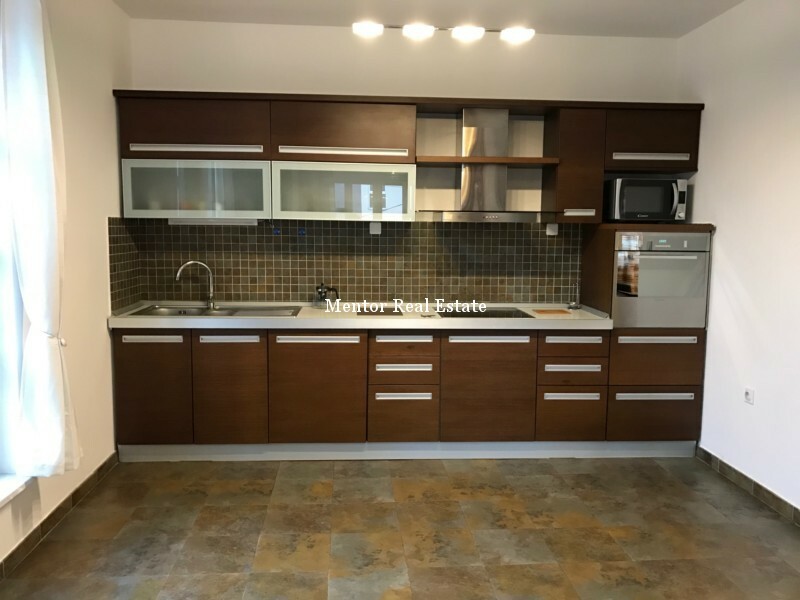 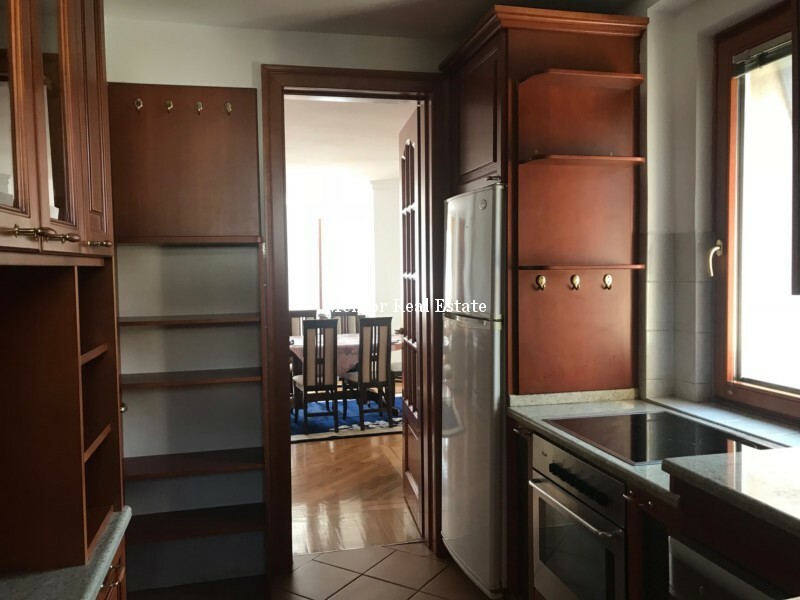 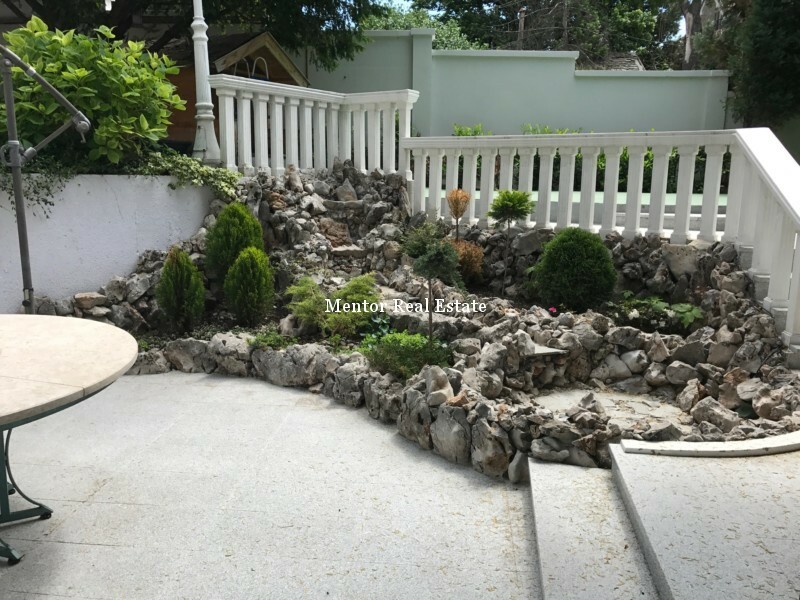 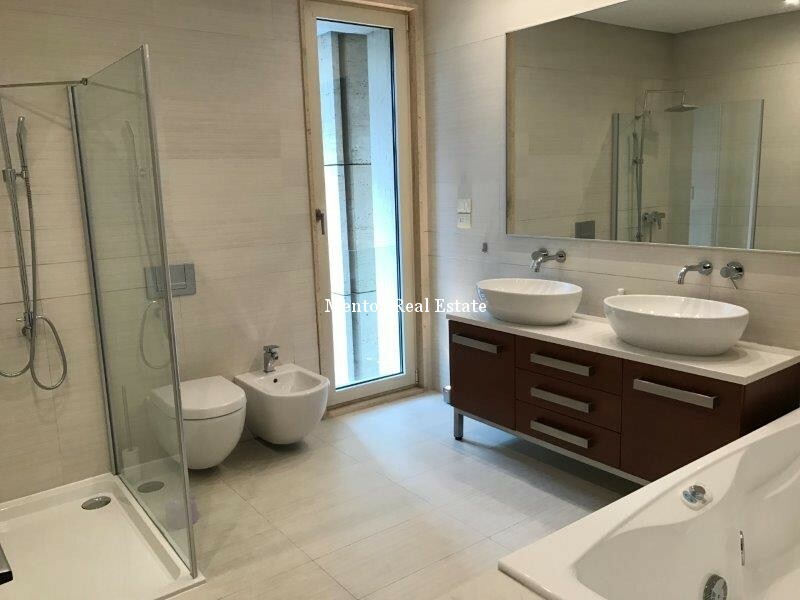 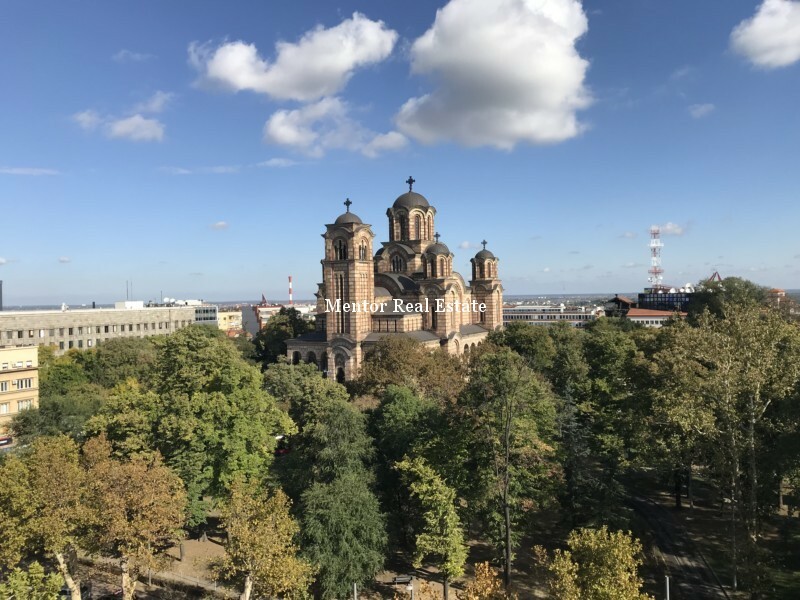 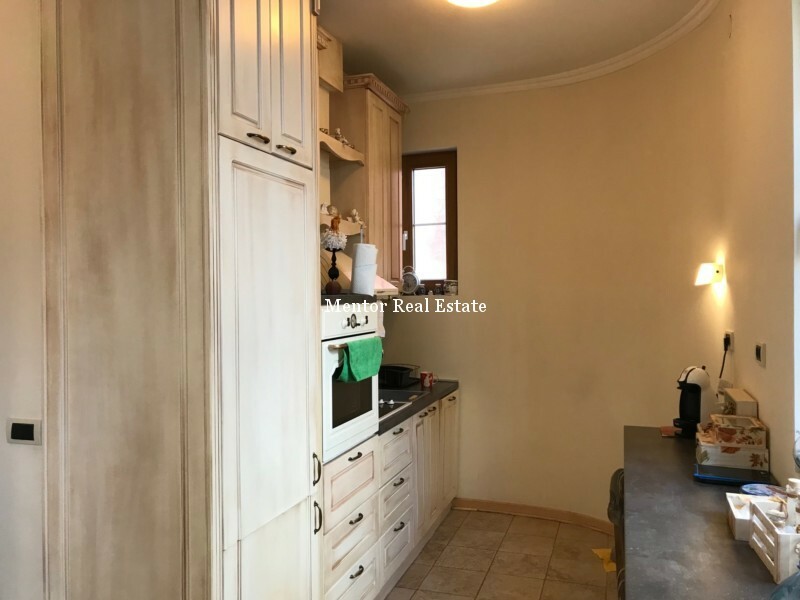 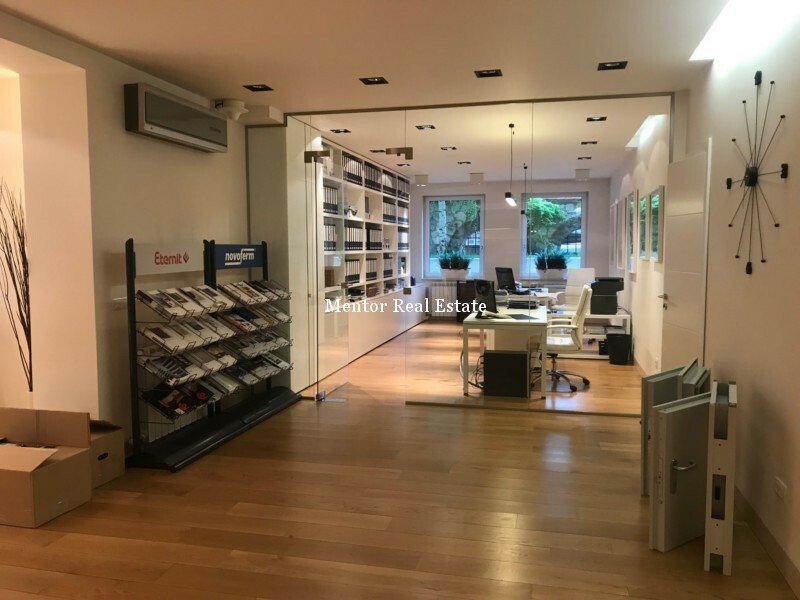 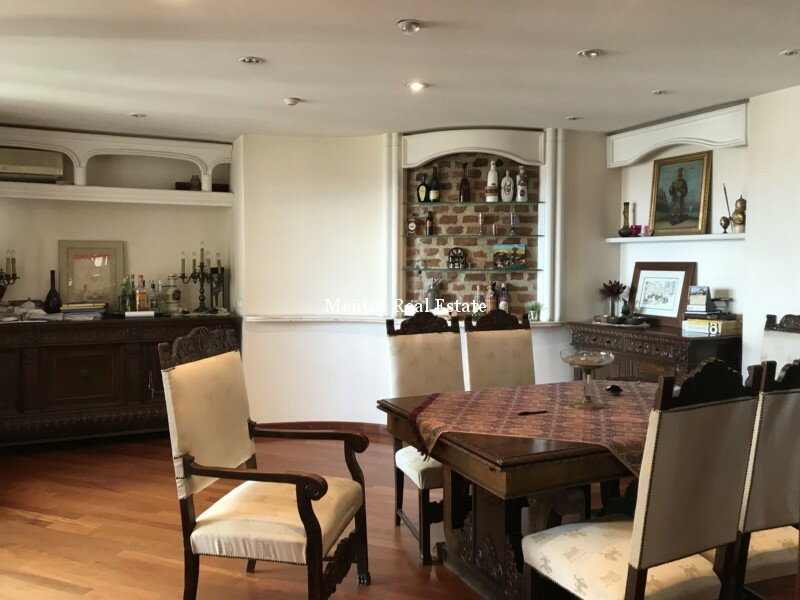 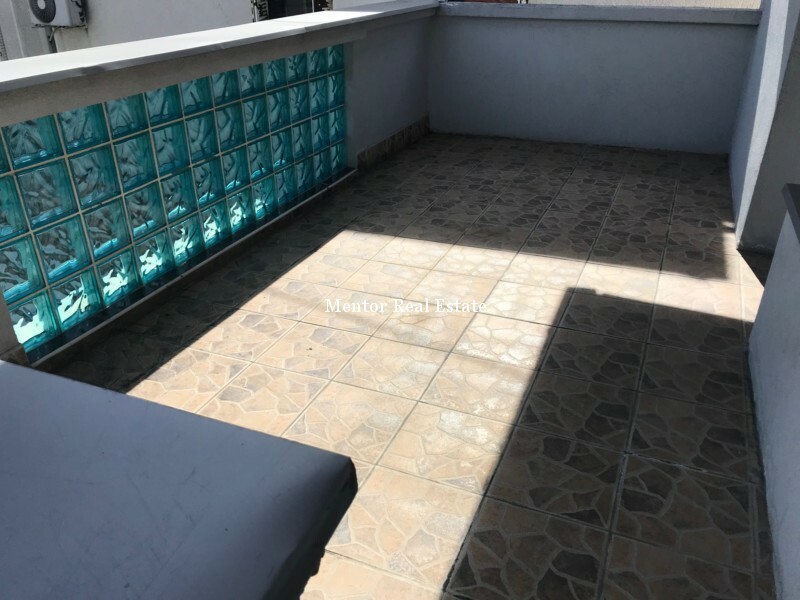 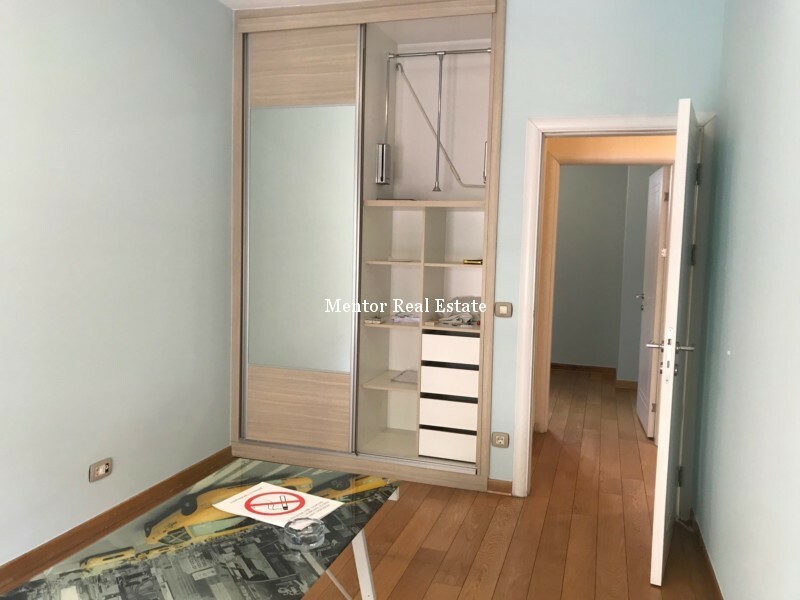 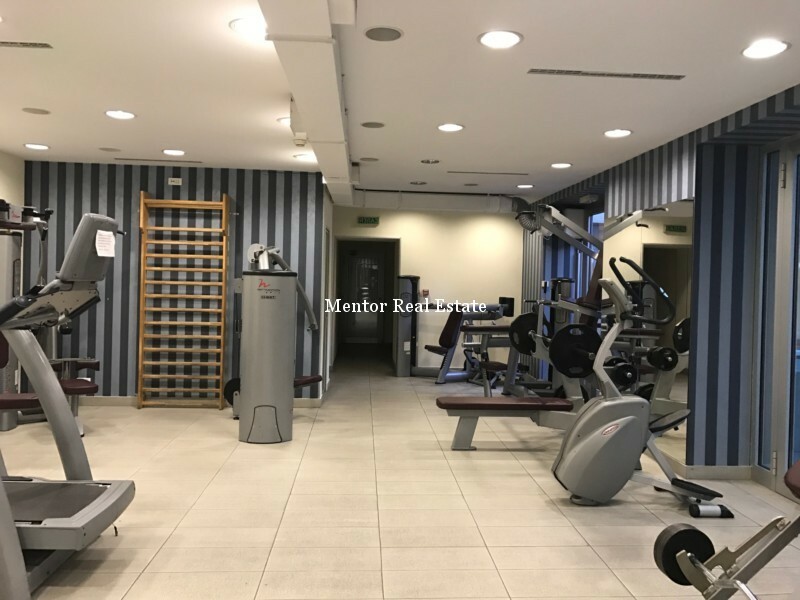 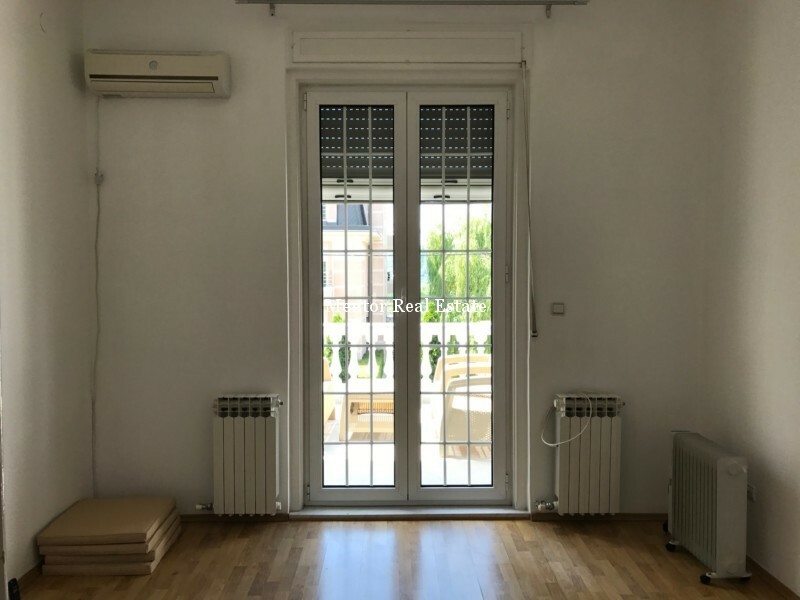 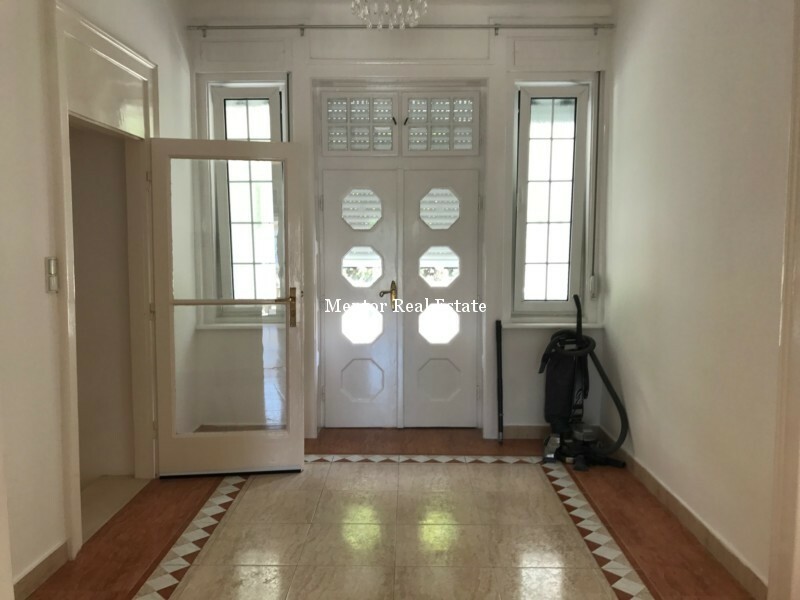 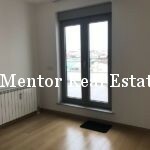 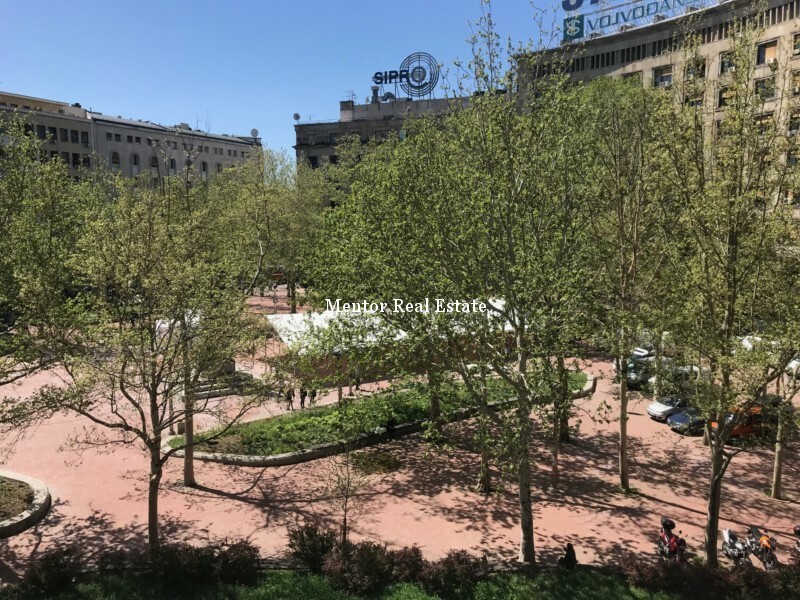 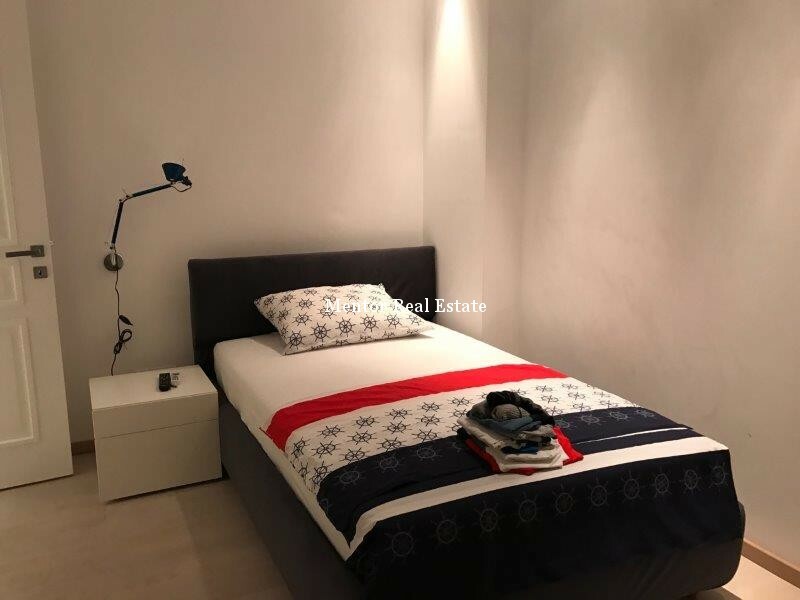 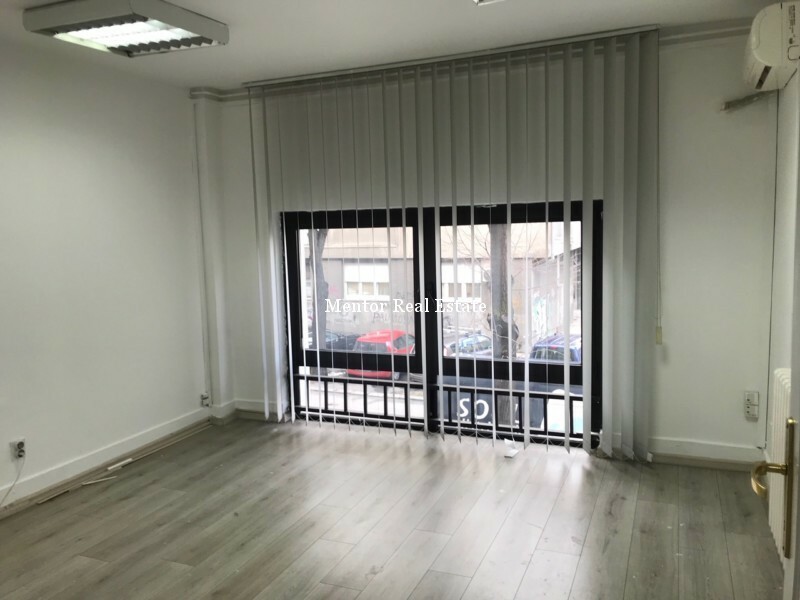 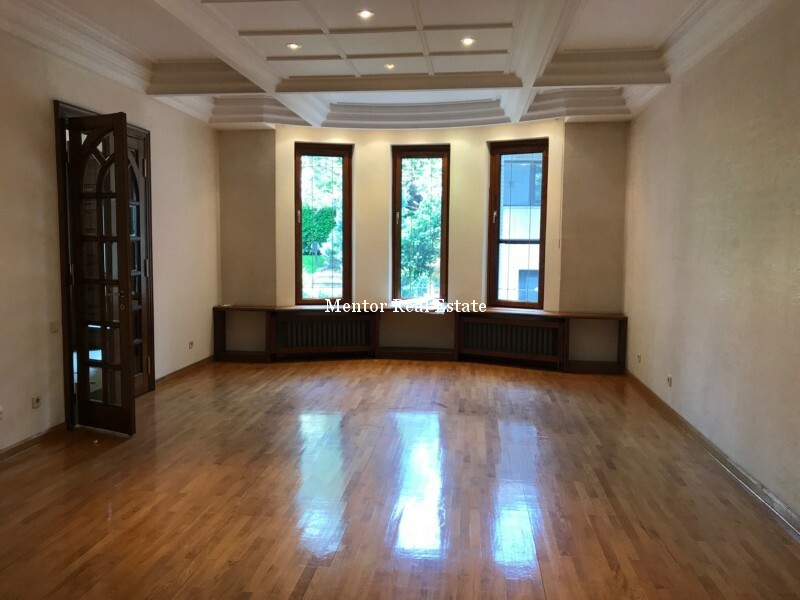 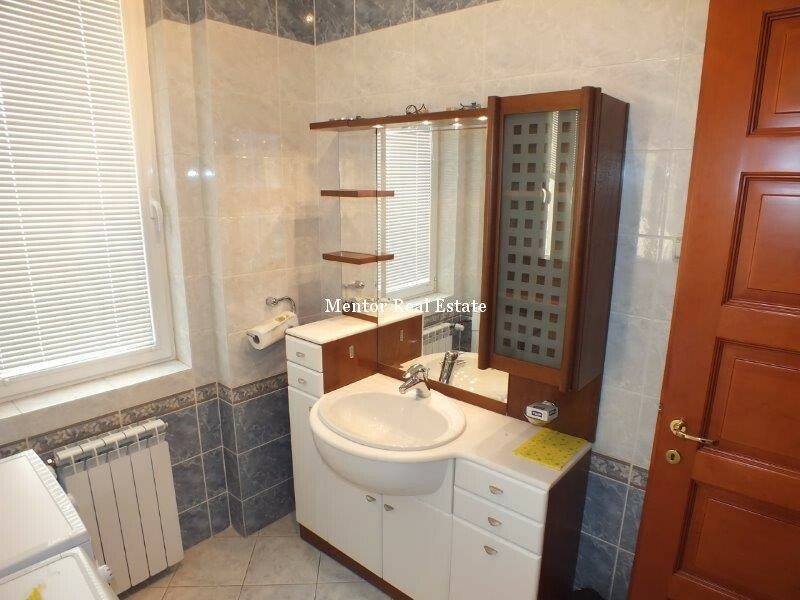 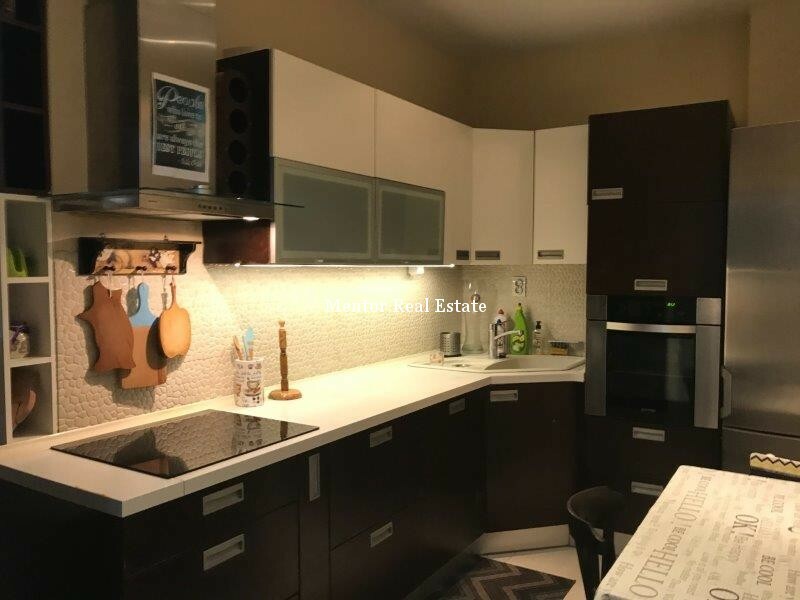 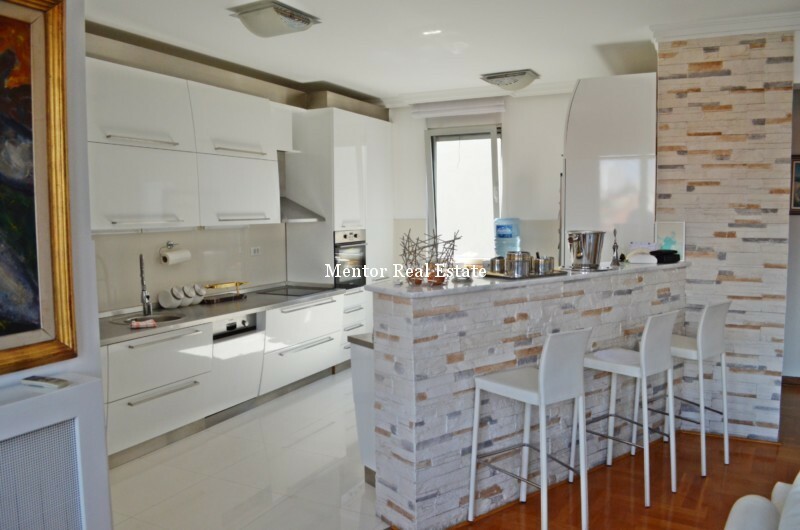 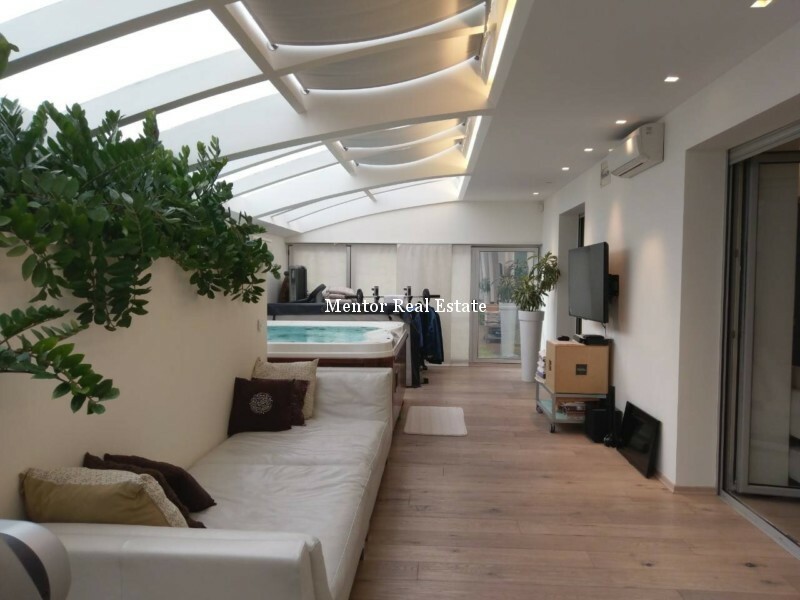 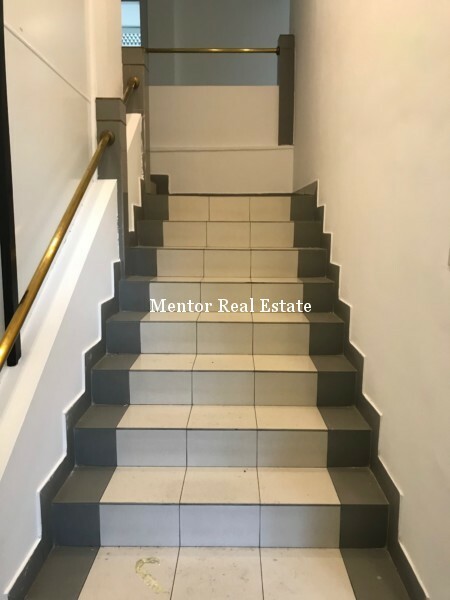 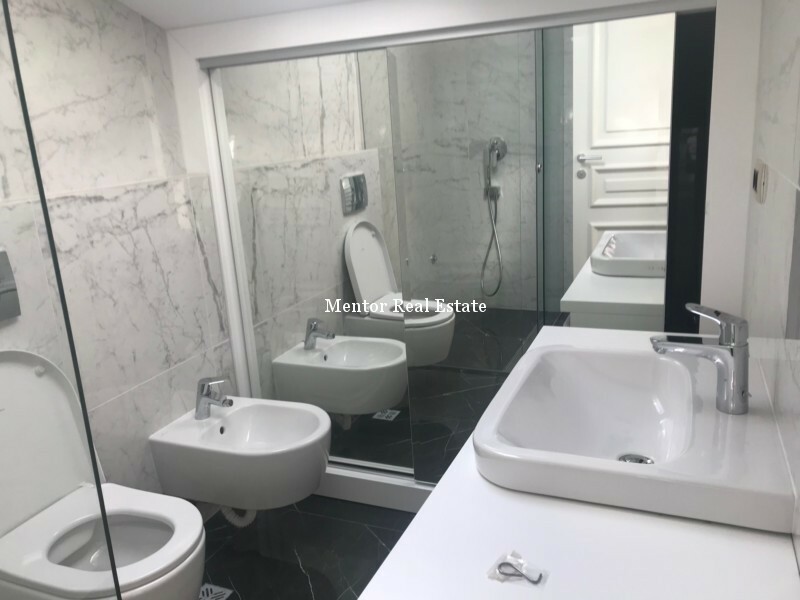 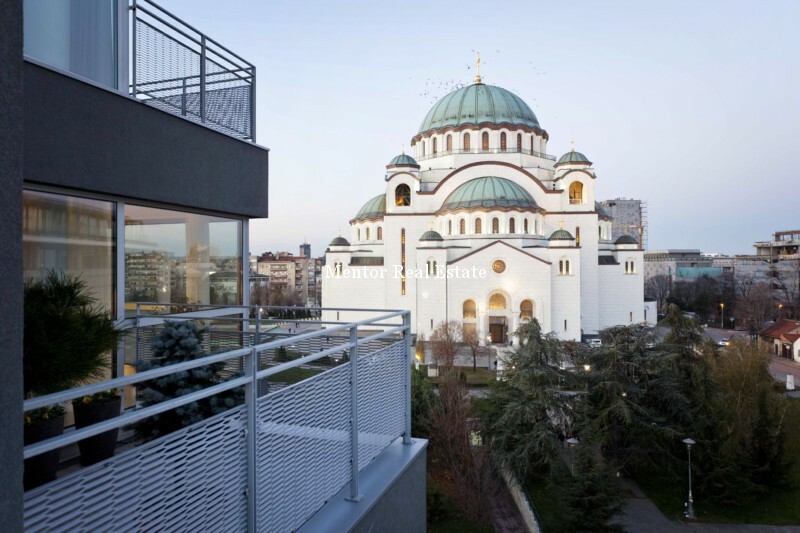 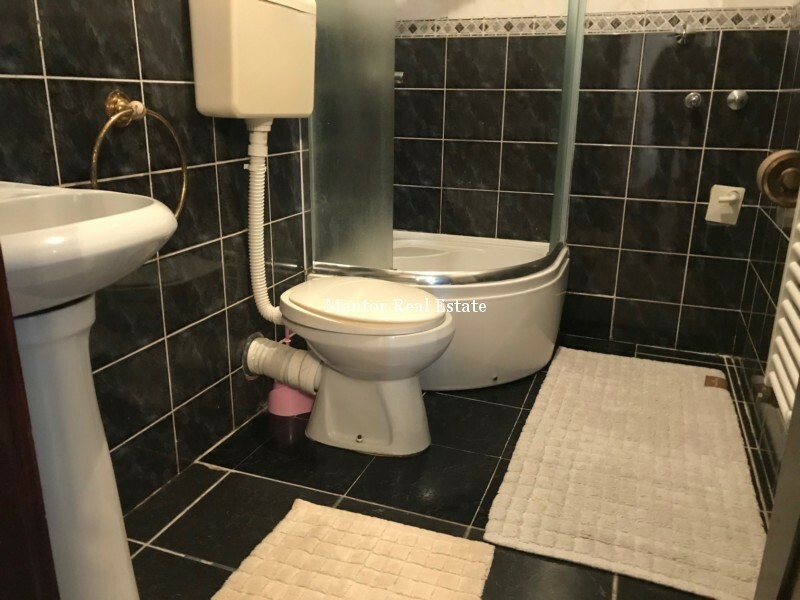 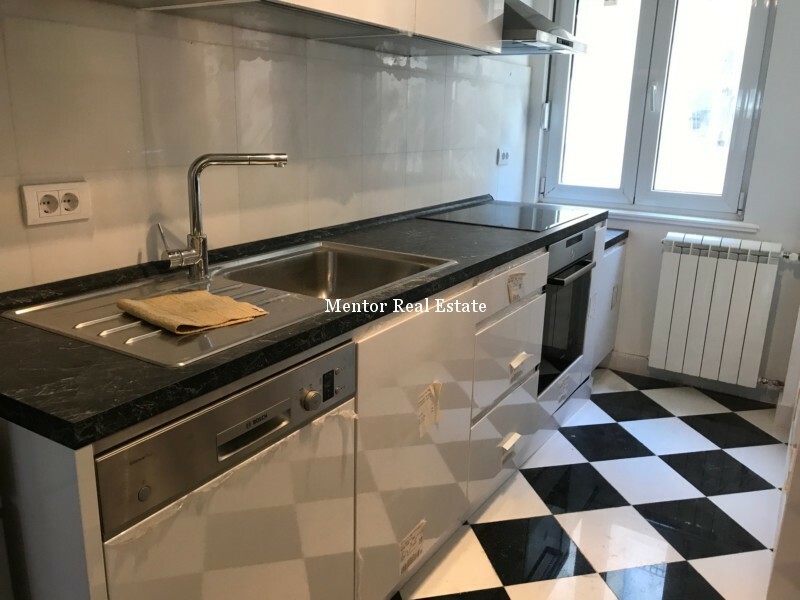 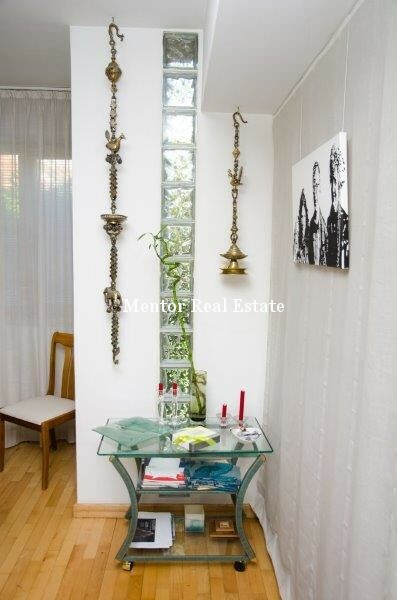 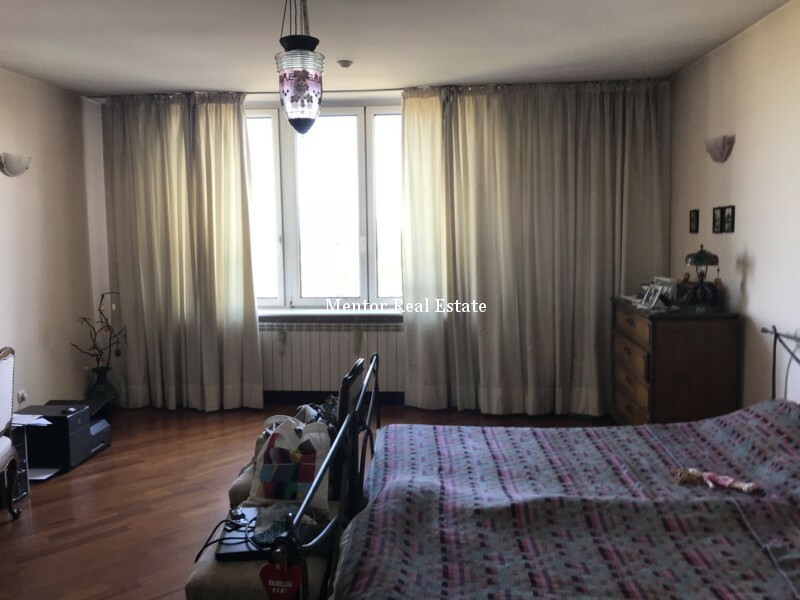 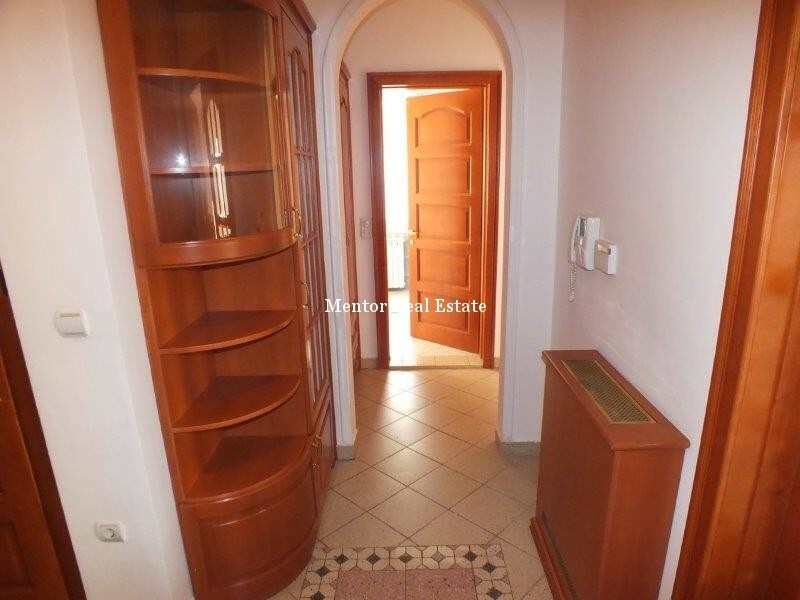 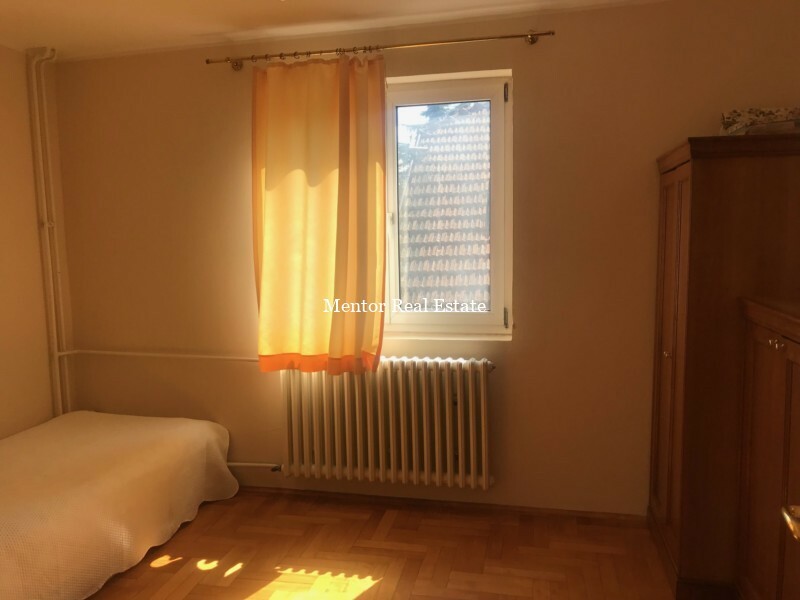 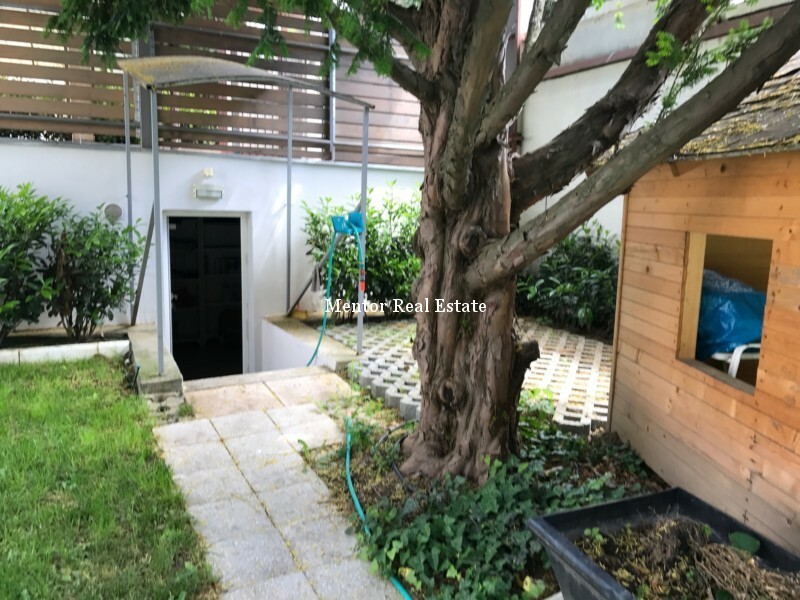 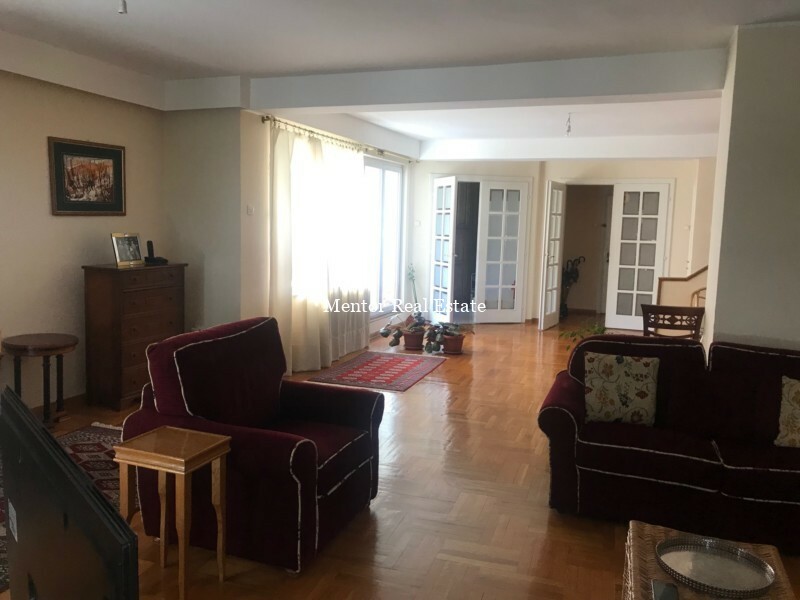 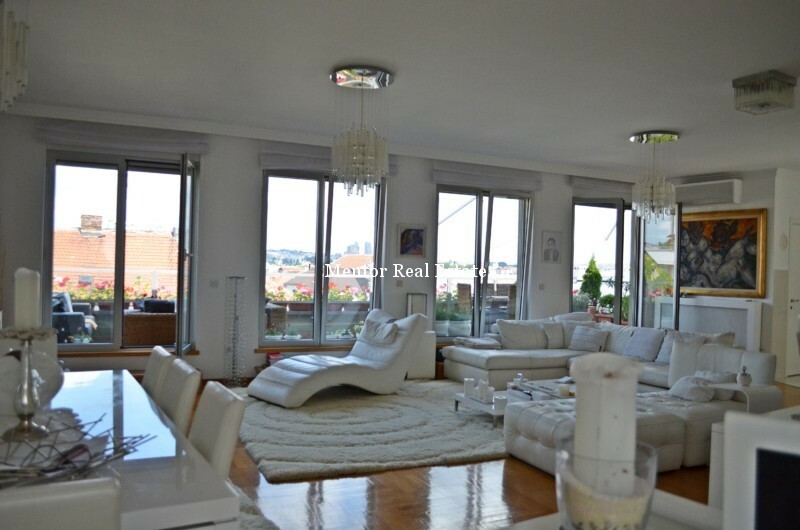 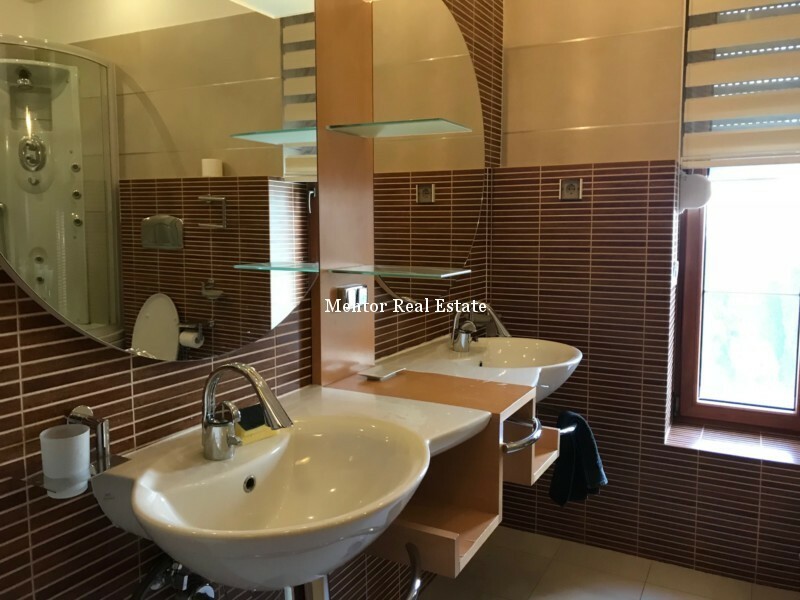 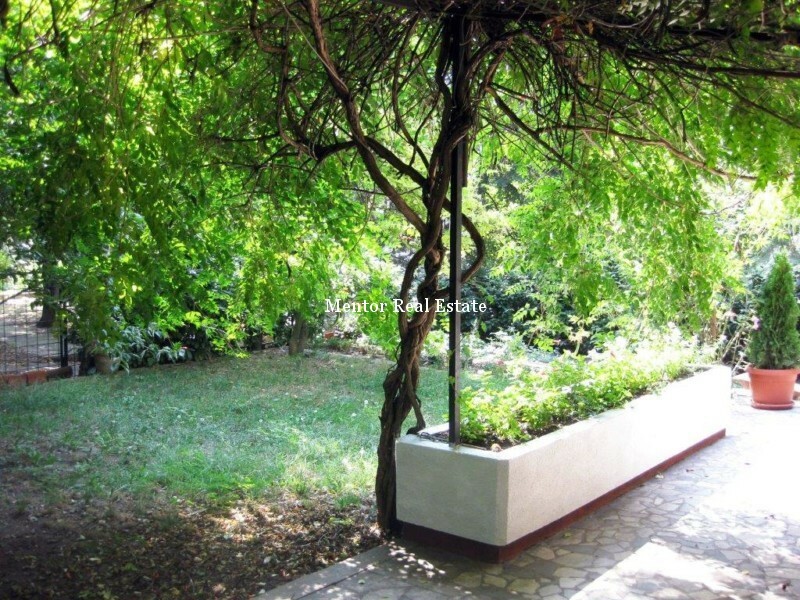 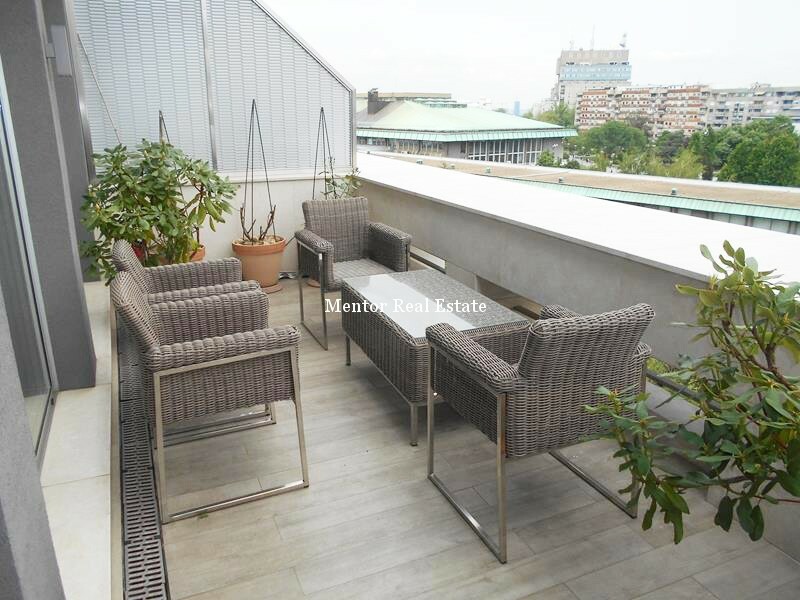 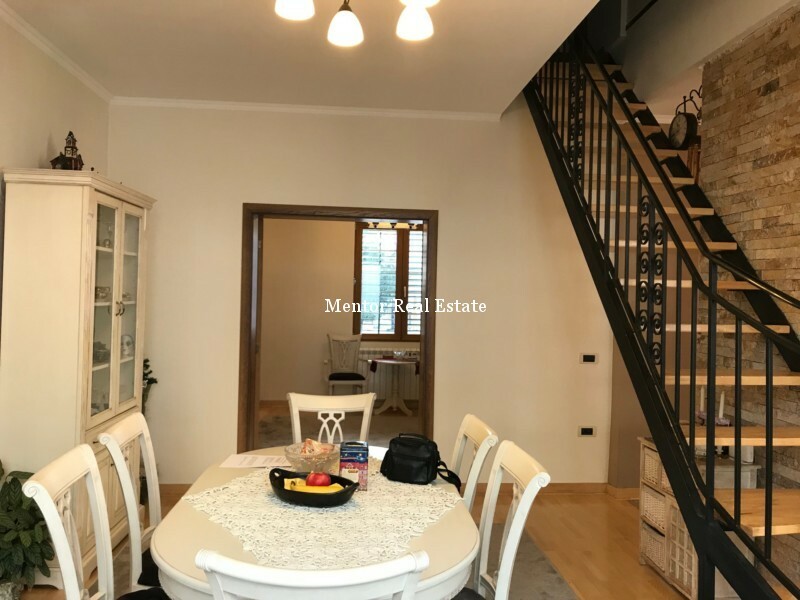 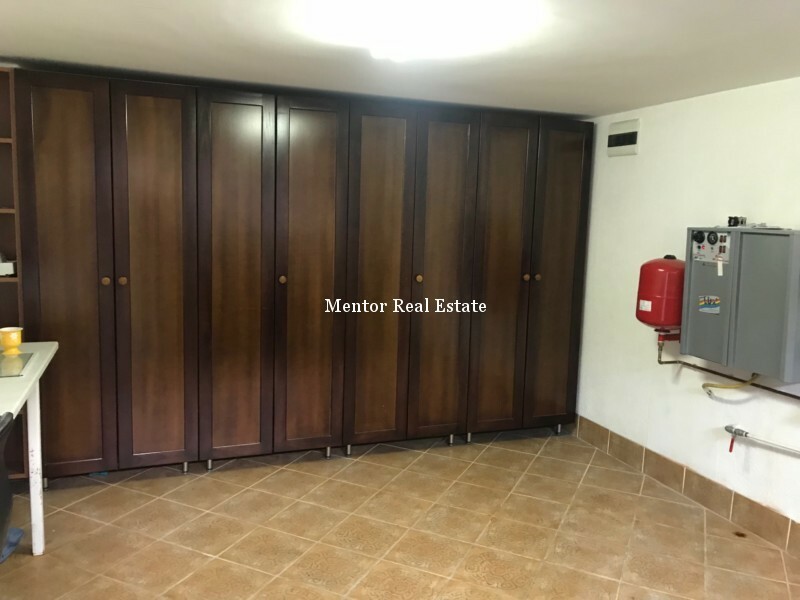 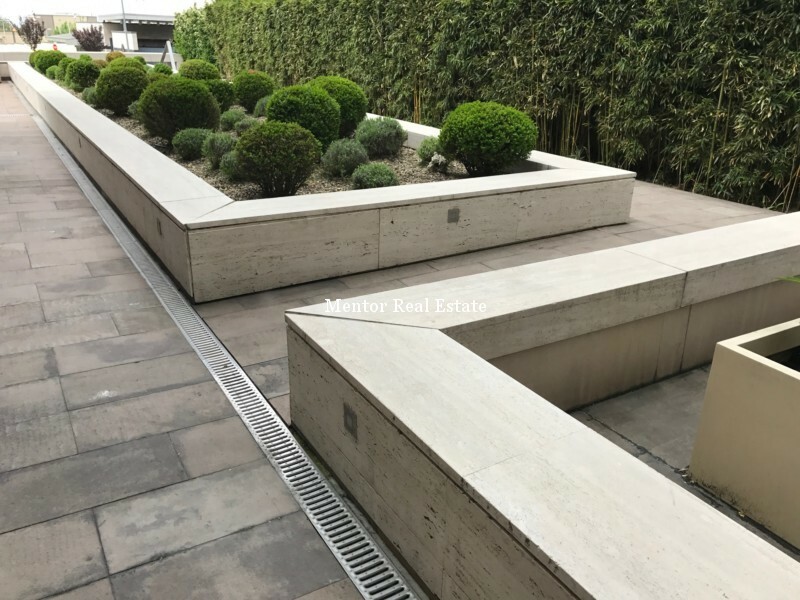 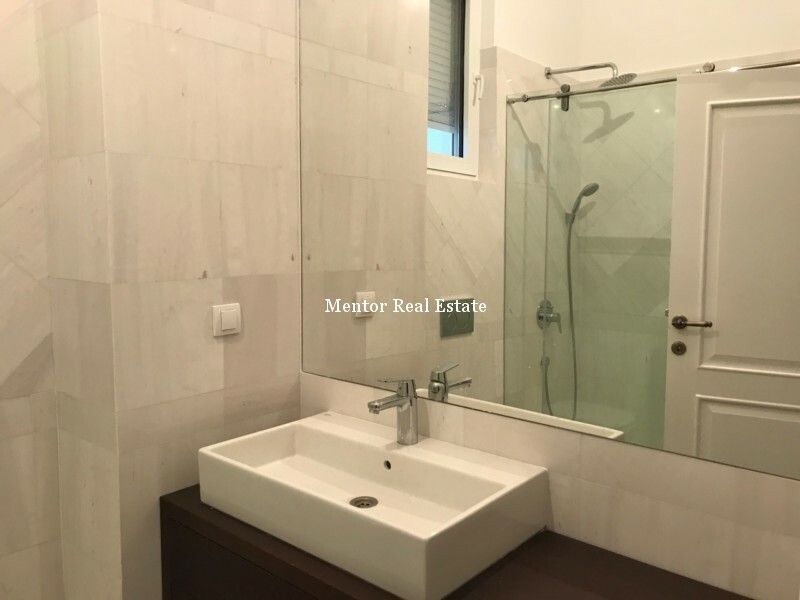 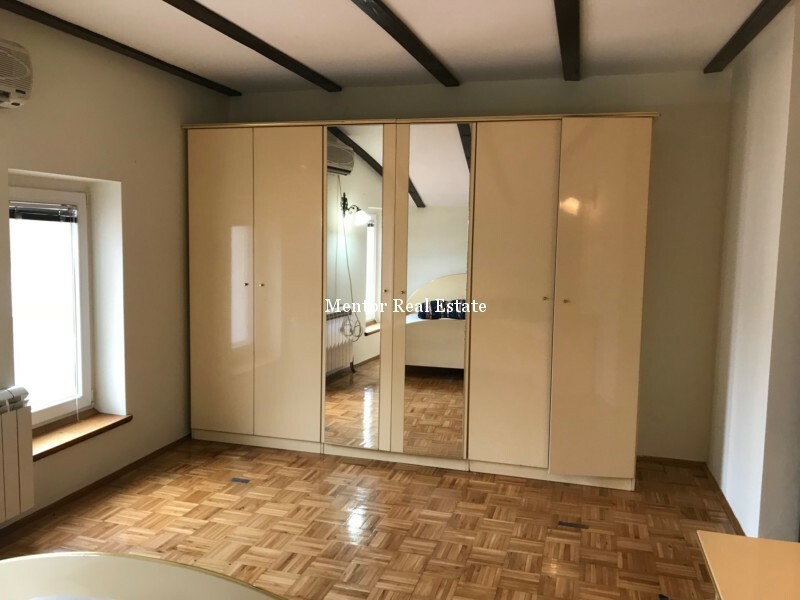 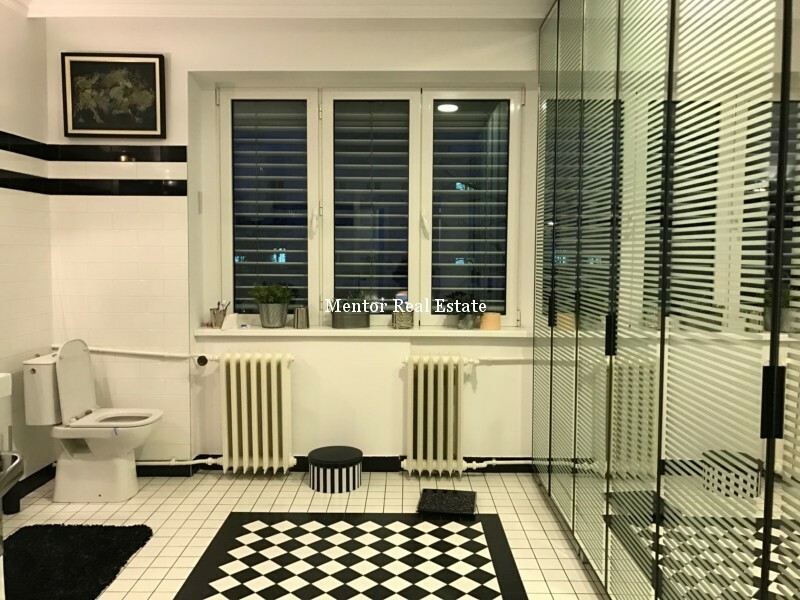 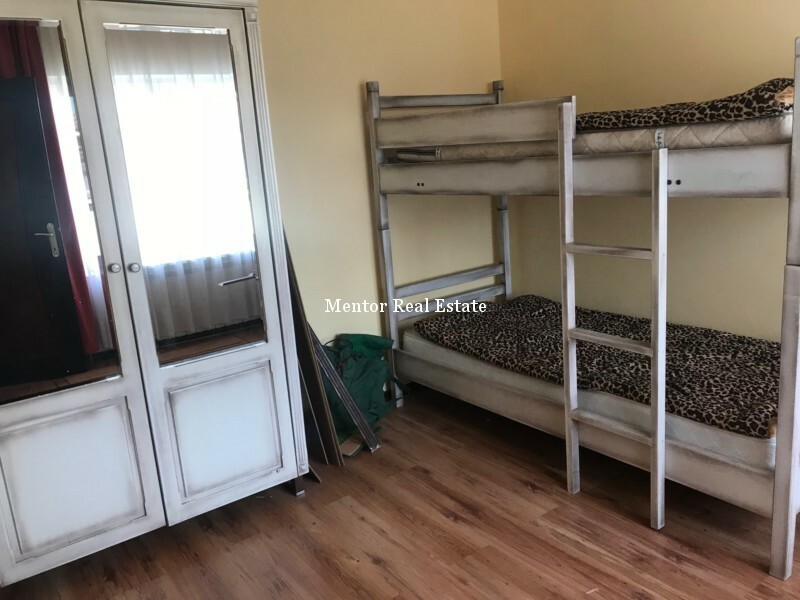 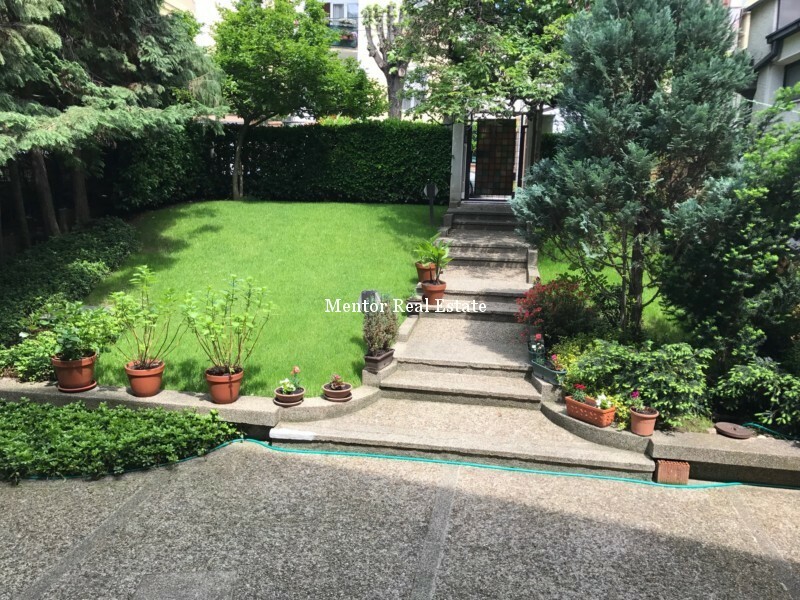 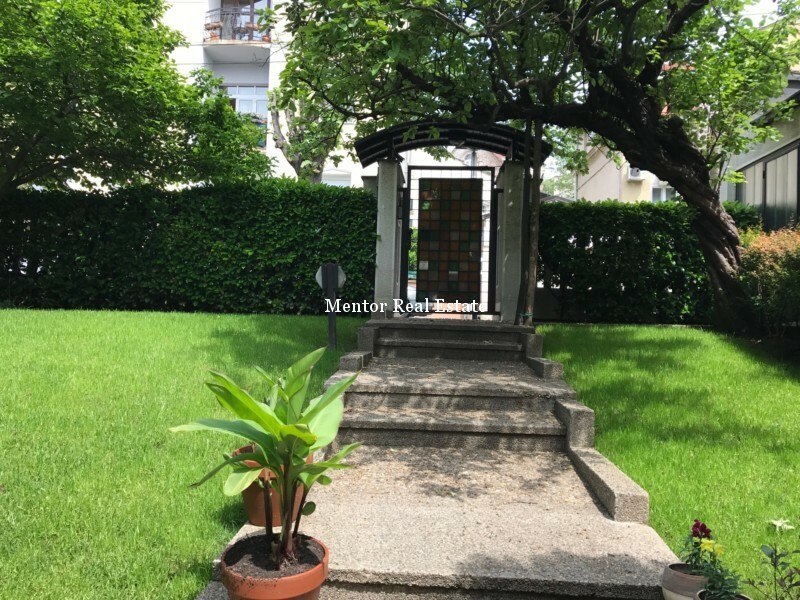 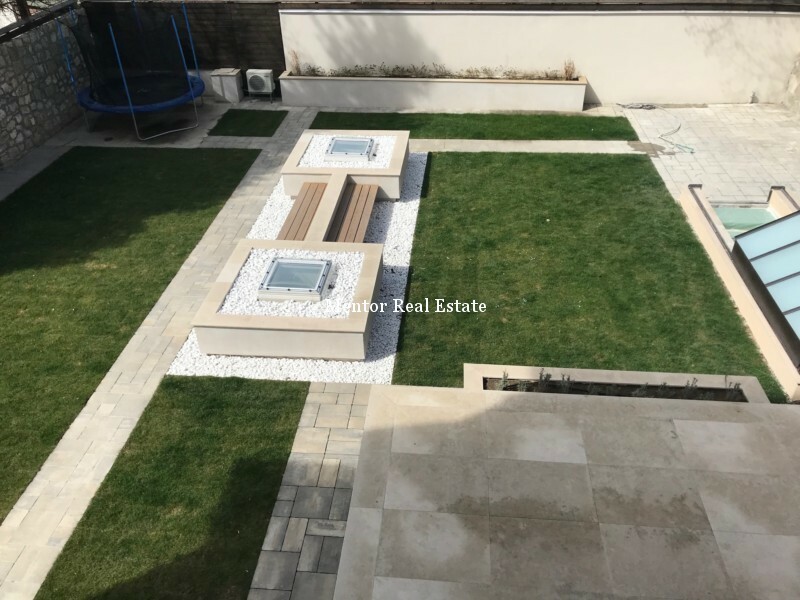 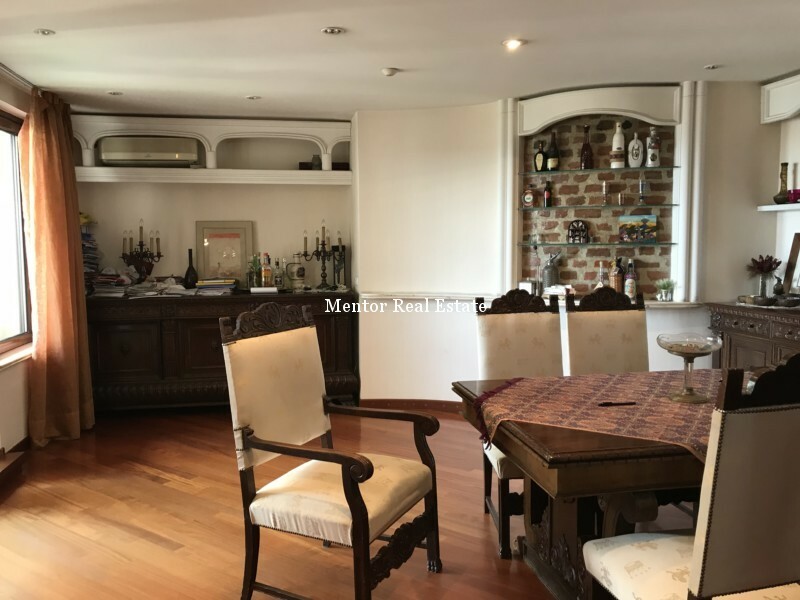 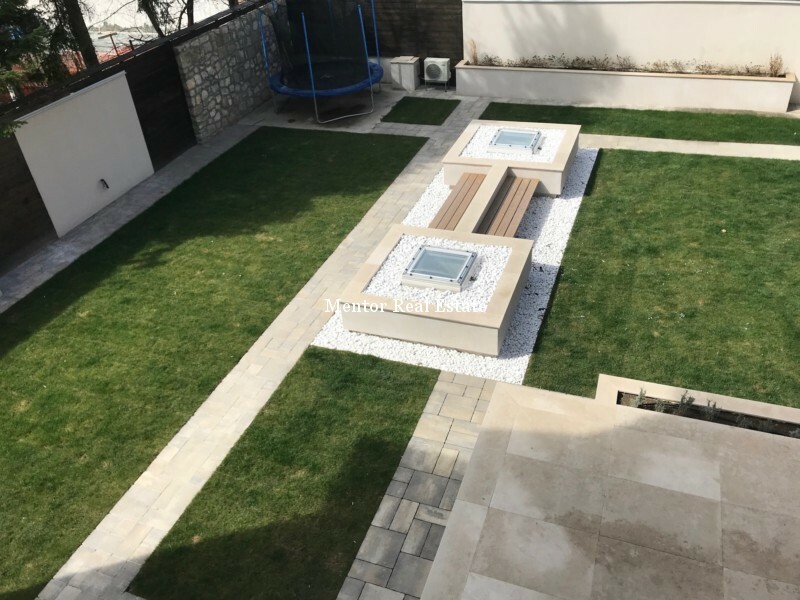 They look for the property special by its architecture or history and at the same time highly functional and equipped by the latest standards. 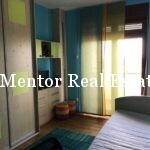 With no exception foreign diplomats are looking fully furnished apartments, often with dishes, bed-clothes and small electronic devices. 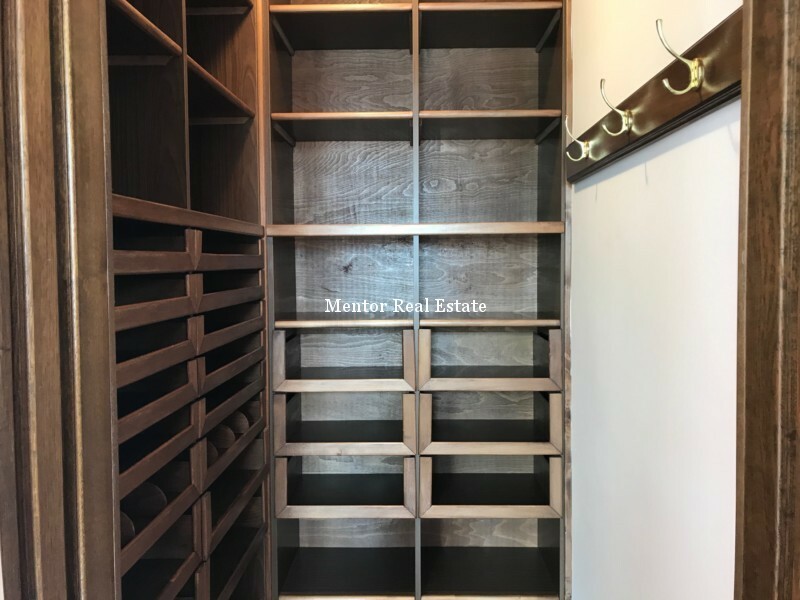 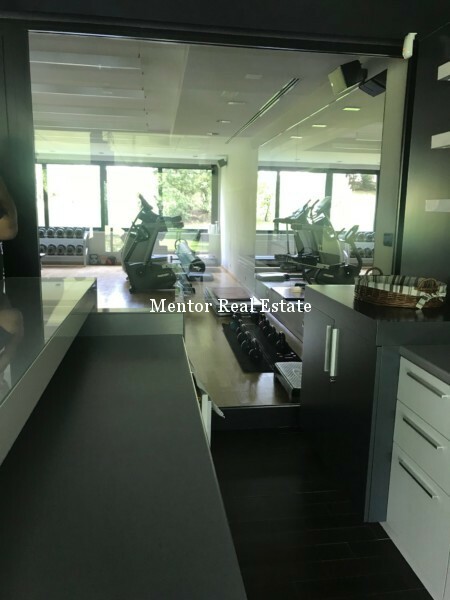 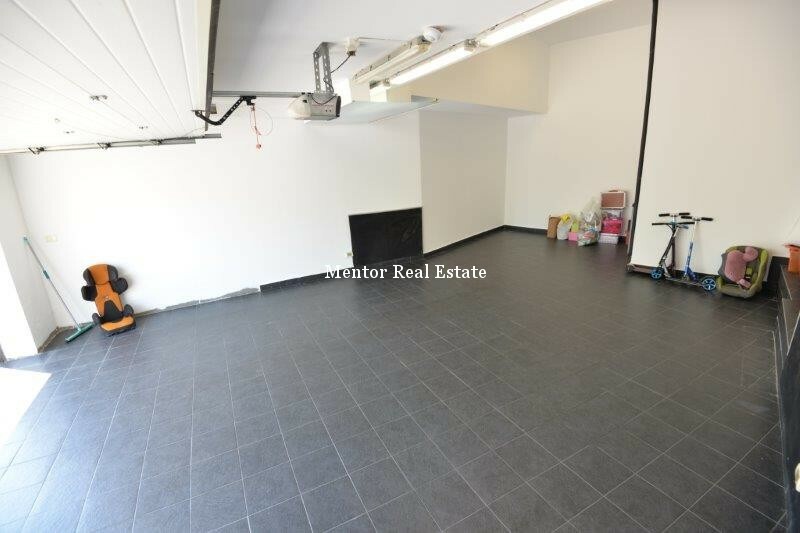 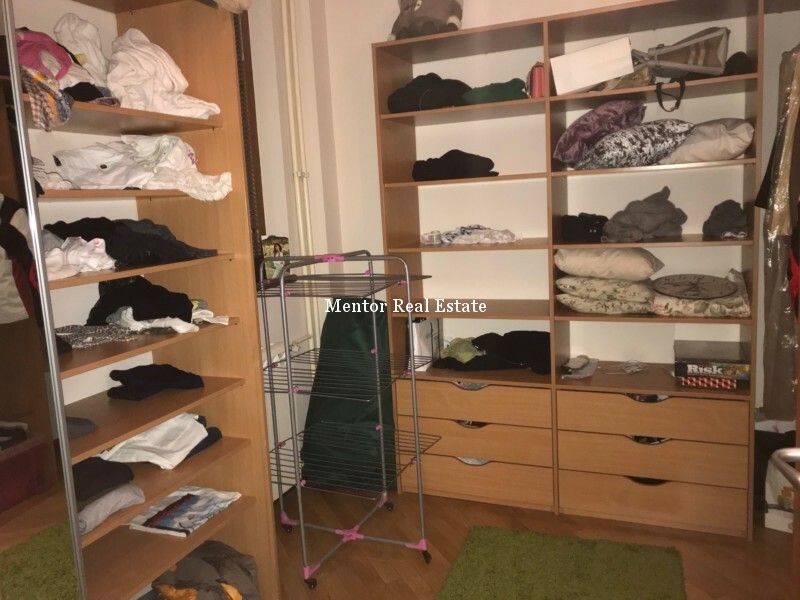 The most of them are paid and allowed to move all of these stuff from their own residence but they would definitely like more if there is no need for it and that they have all of these already in their new apartment. 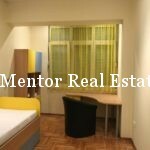 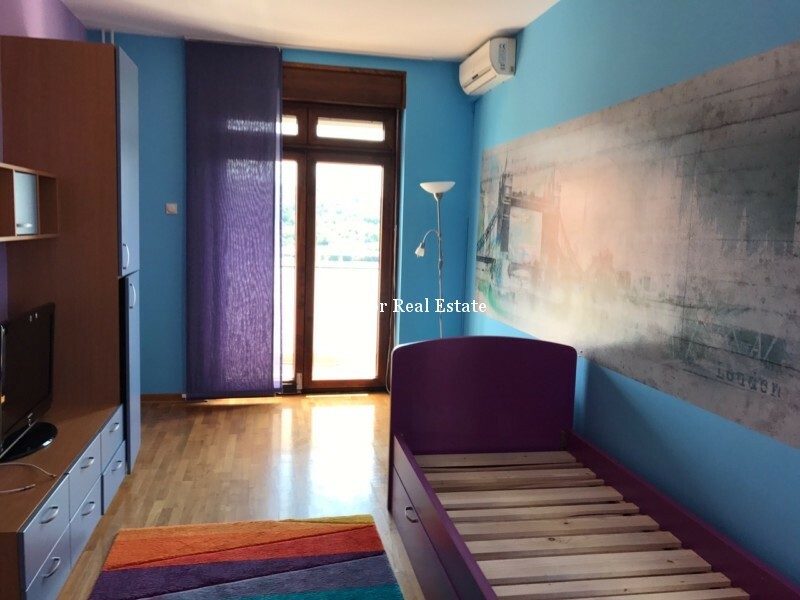 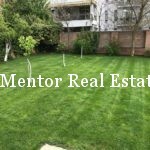 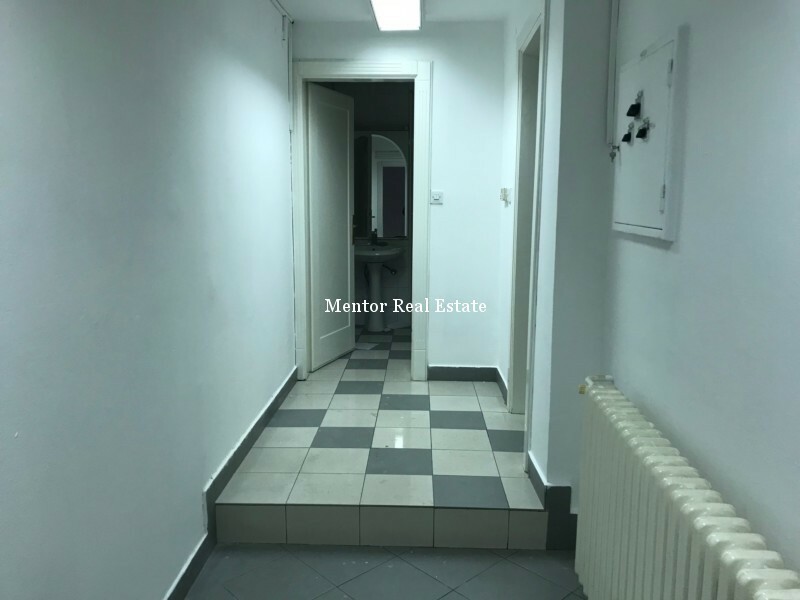 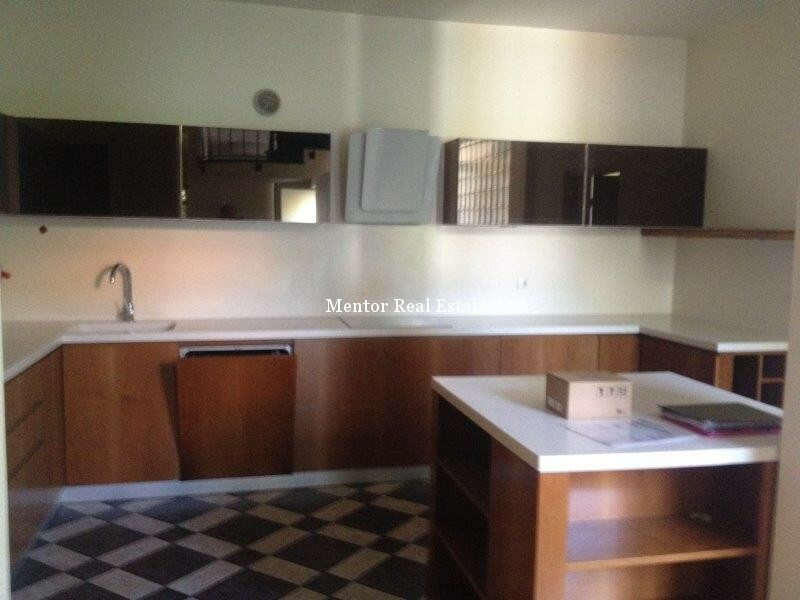 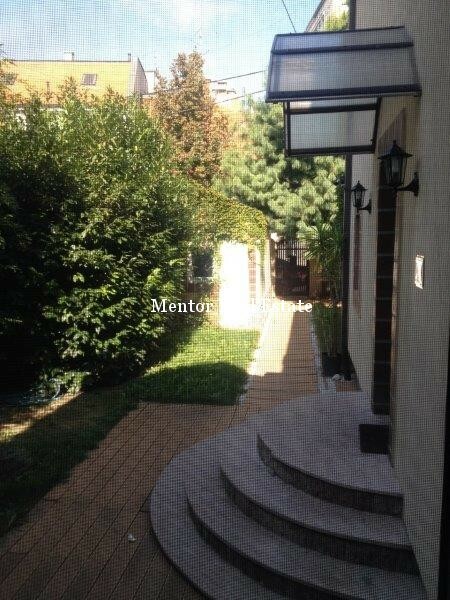 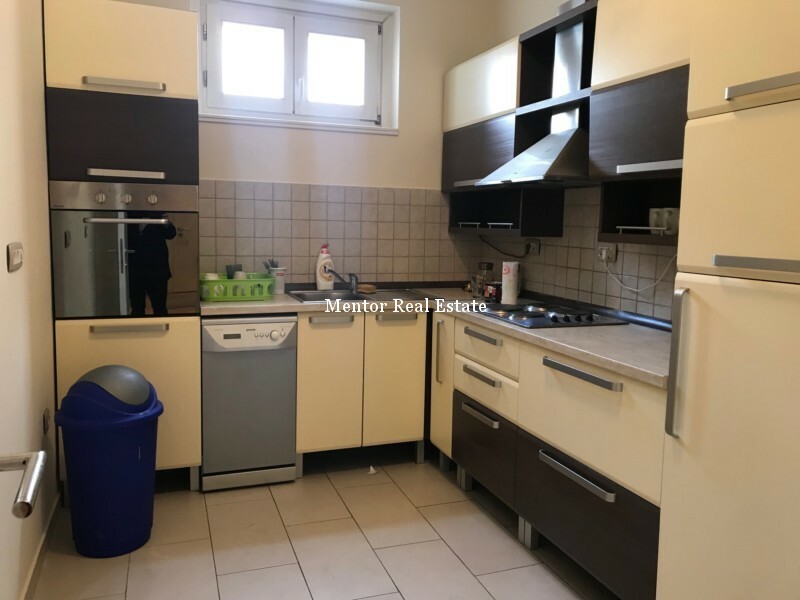 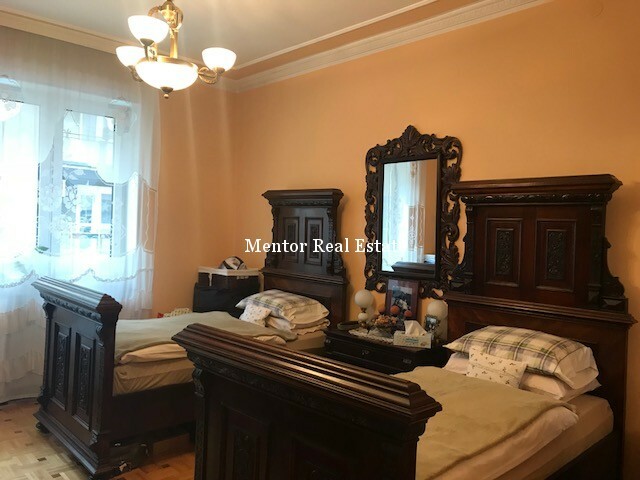 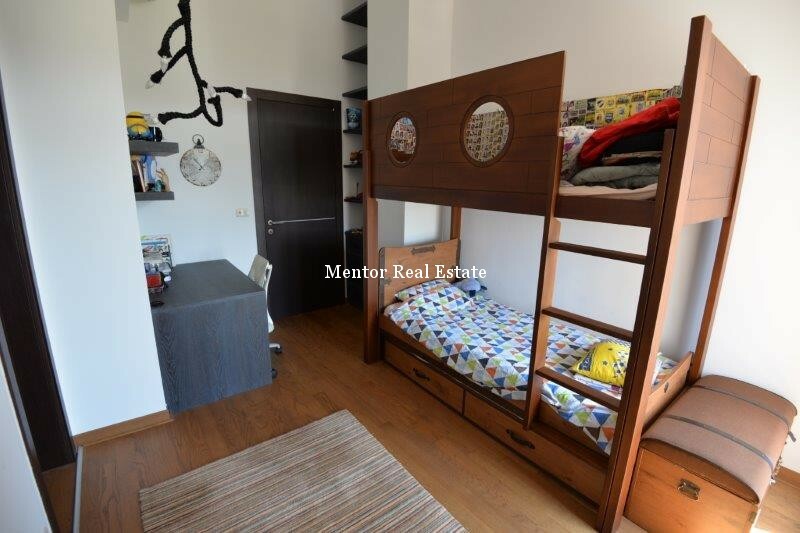 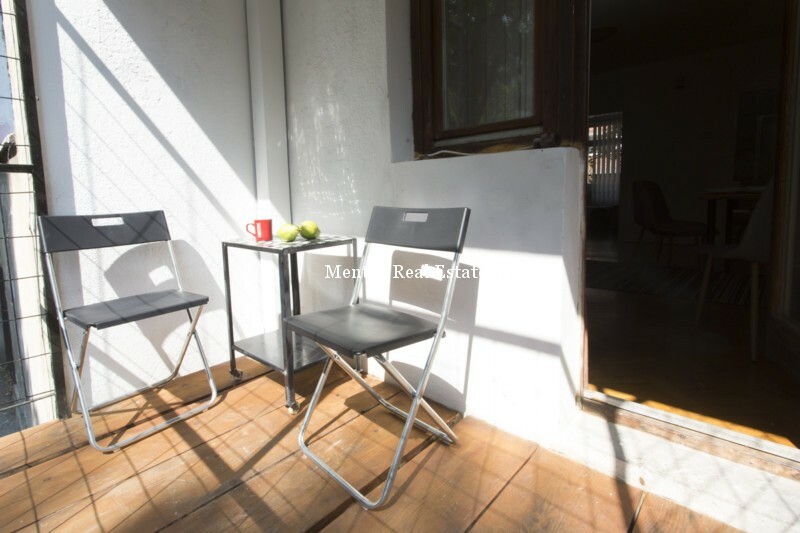 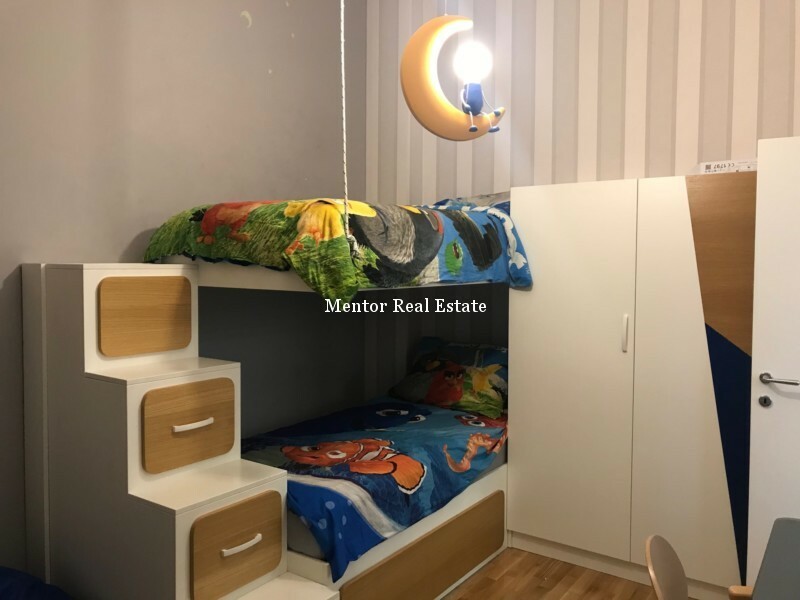 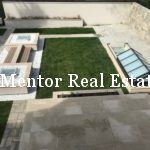 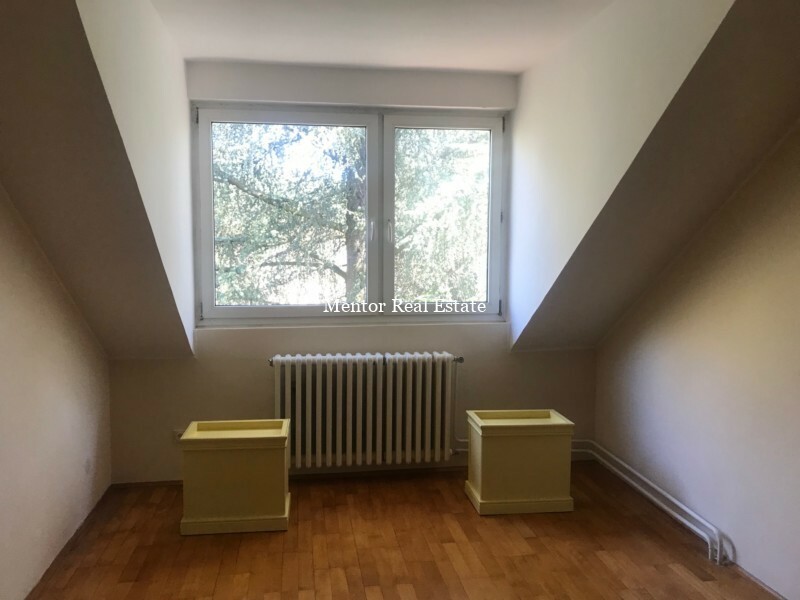 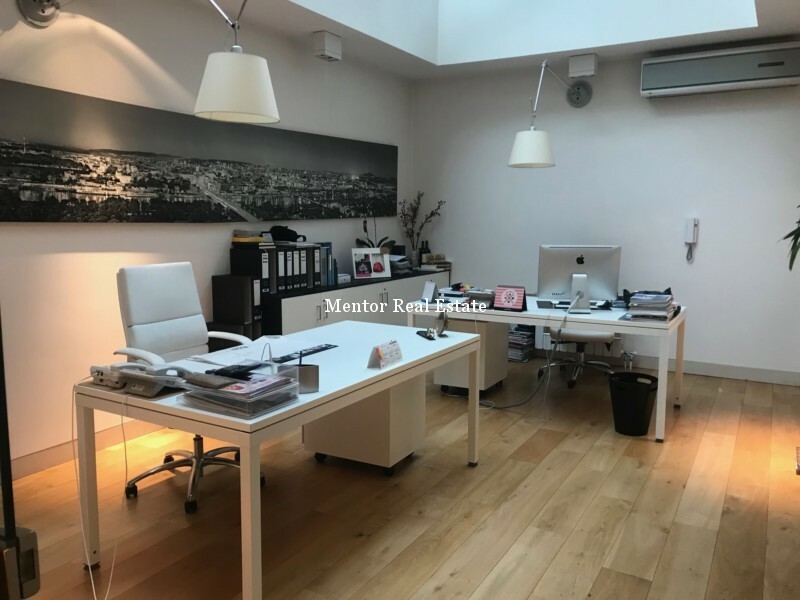 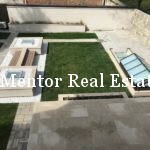 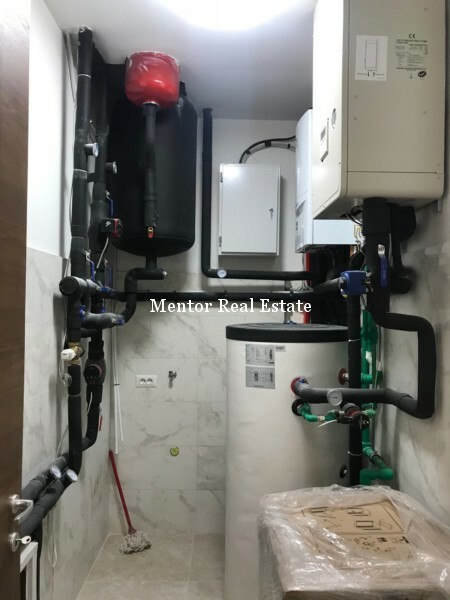 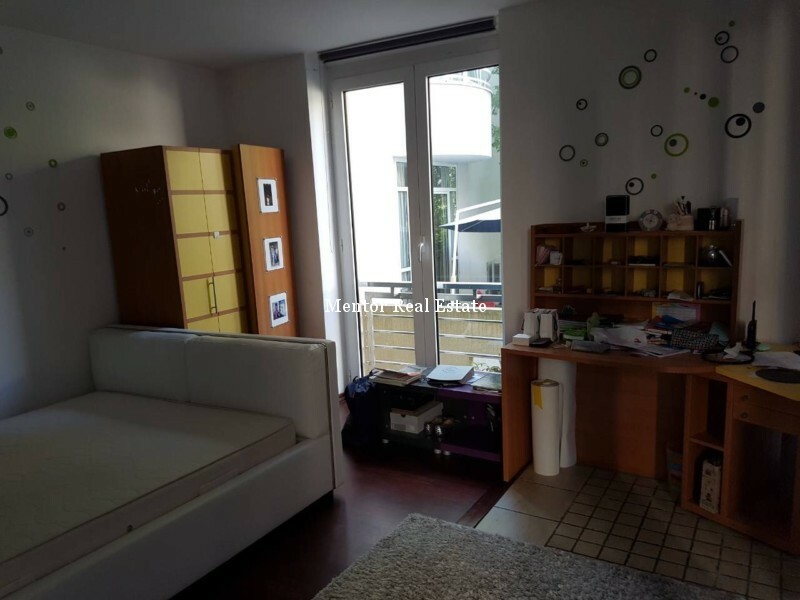 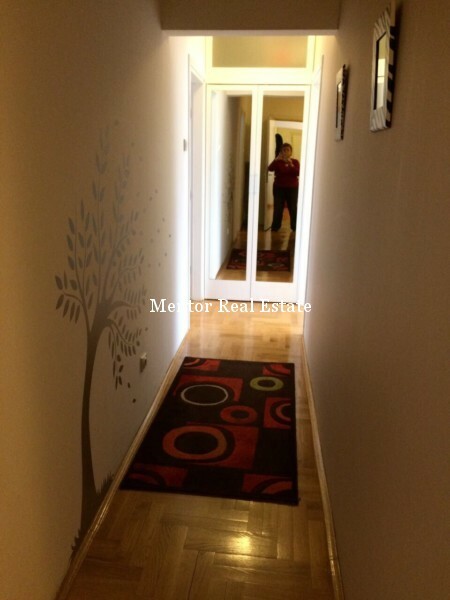 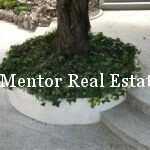 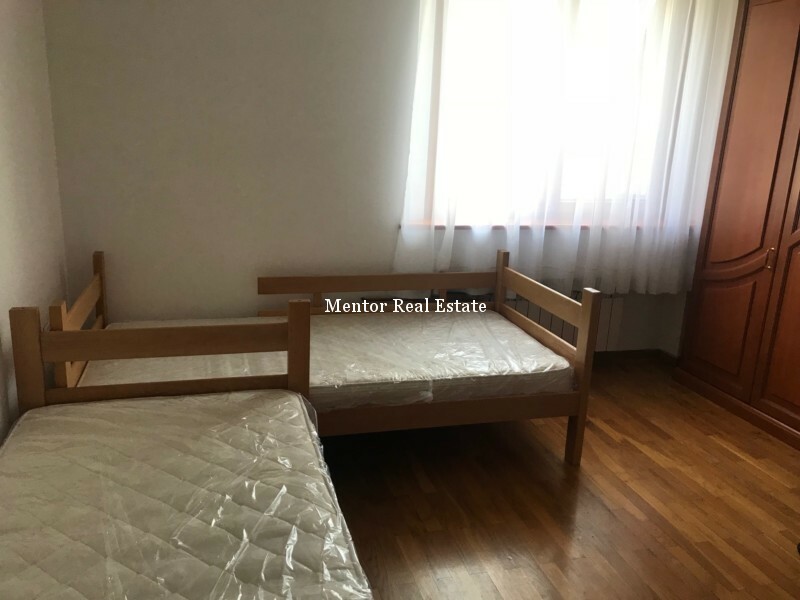 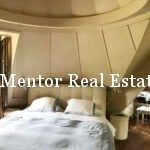 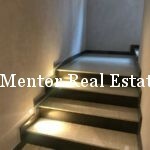 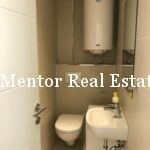 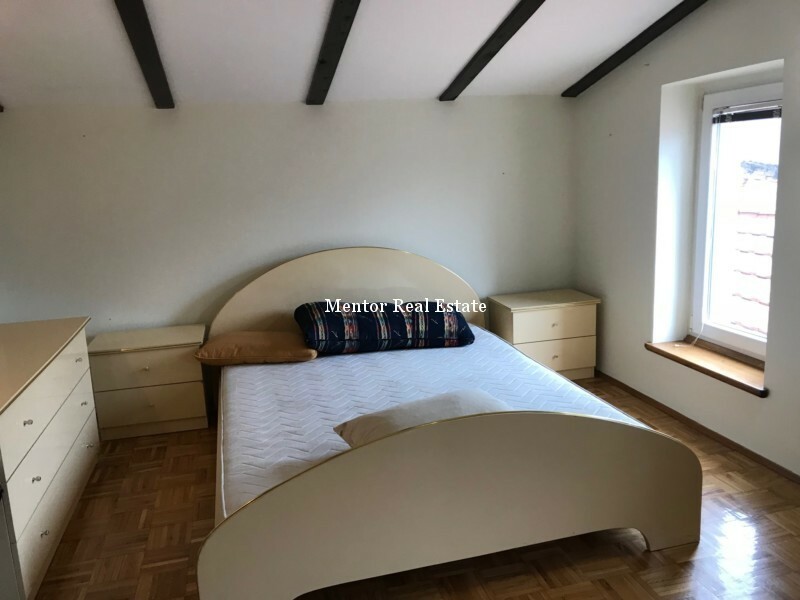 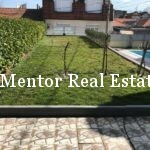 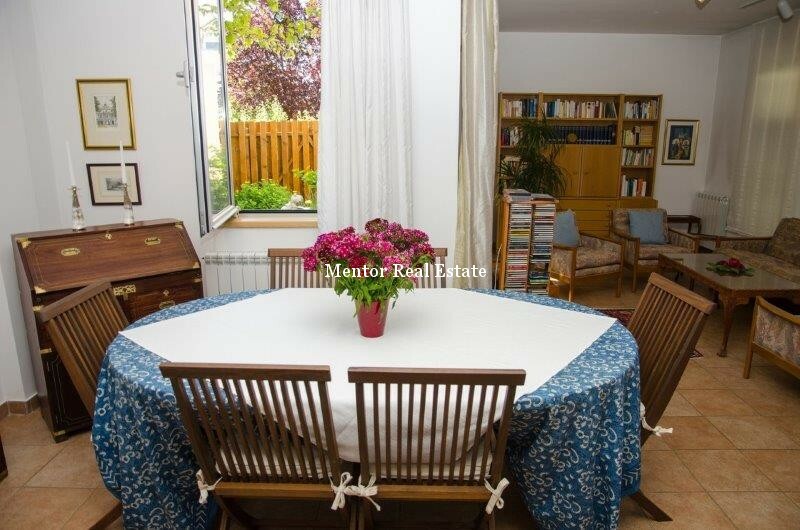 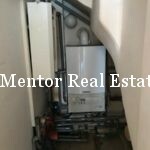 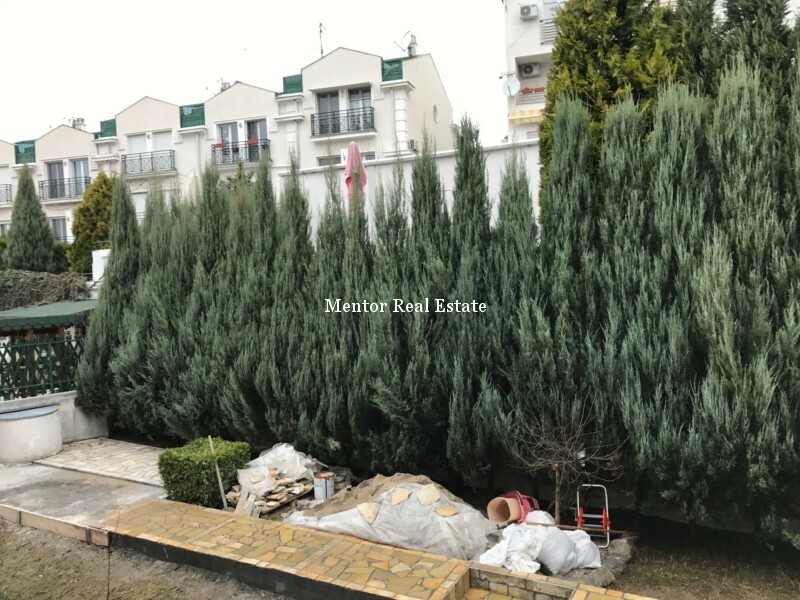 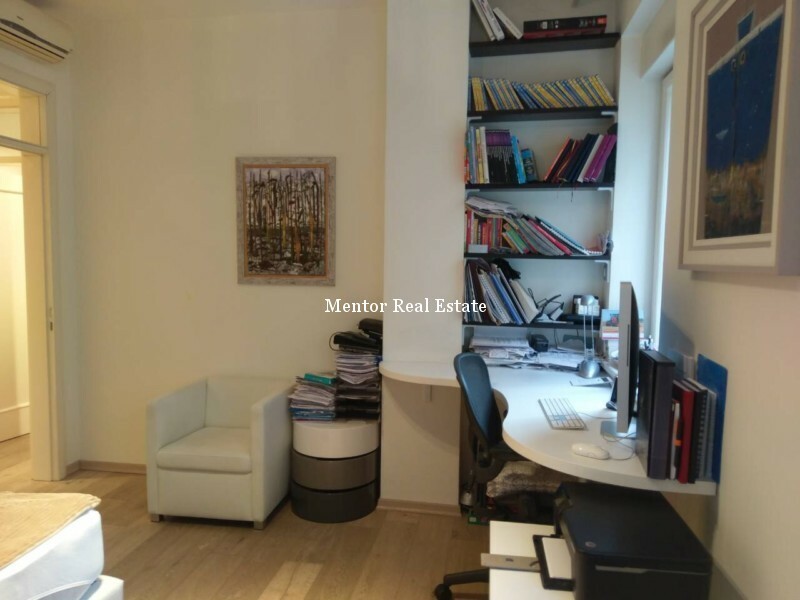 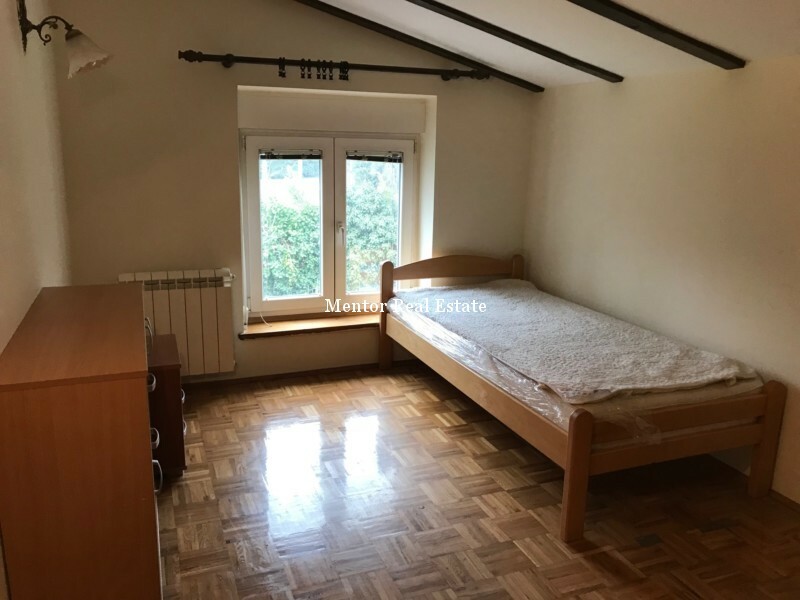 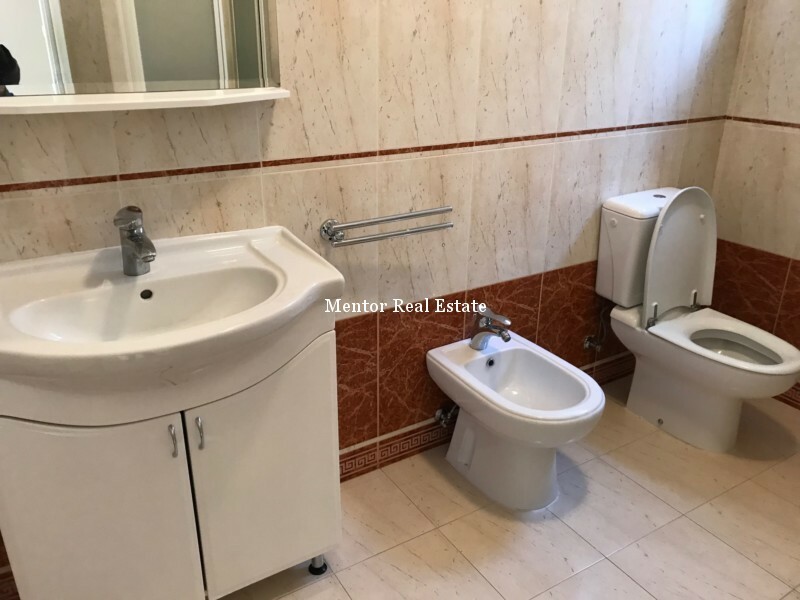 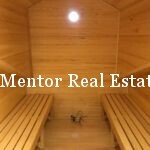 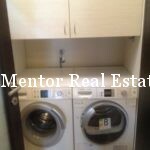 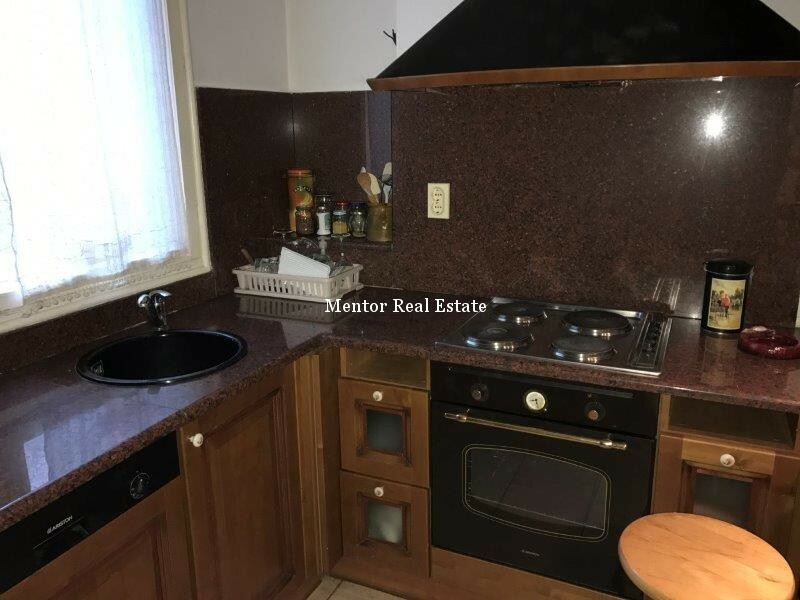 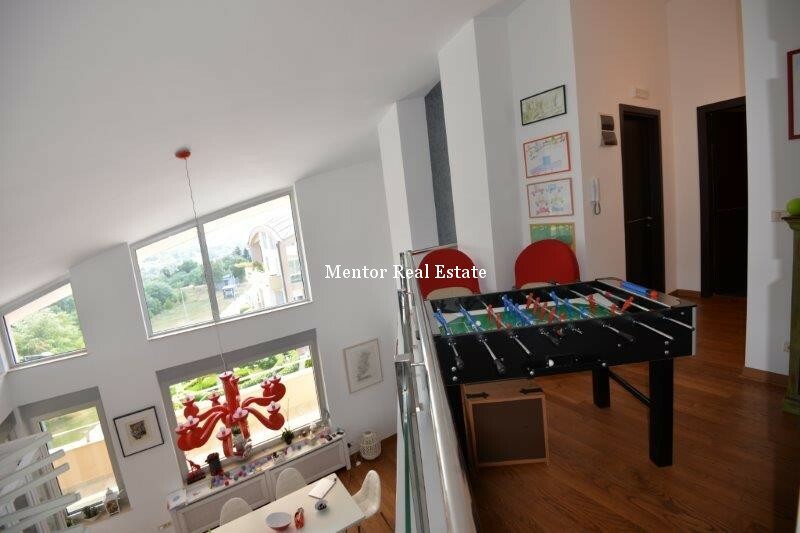 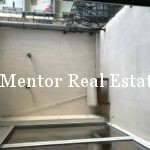 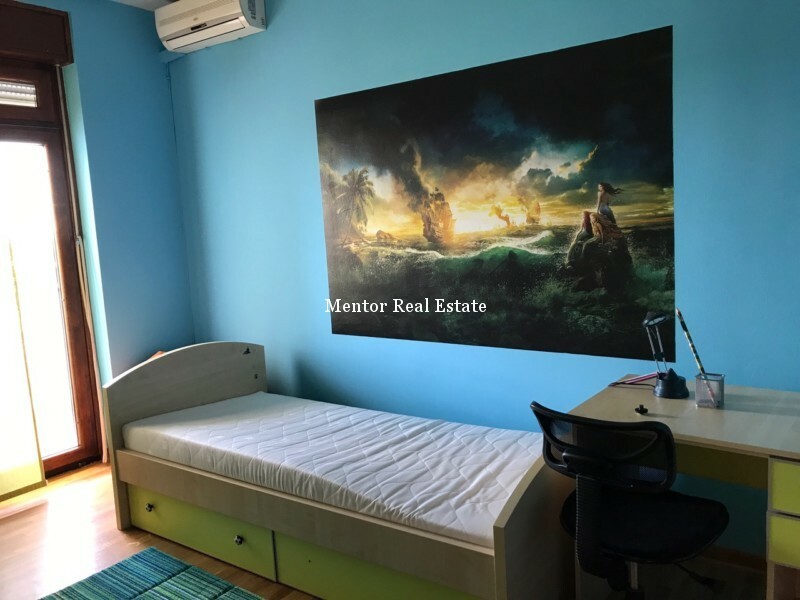 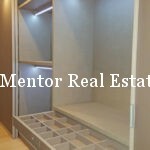 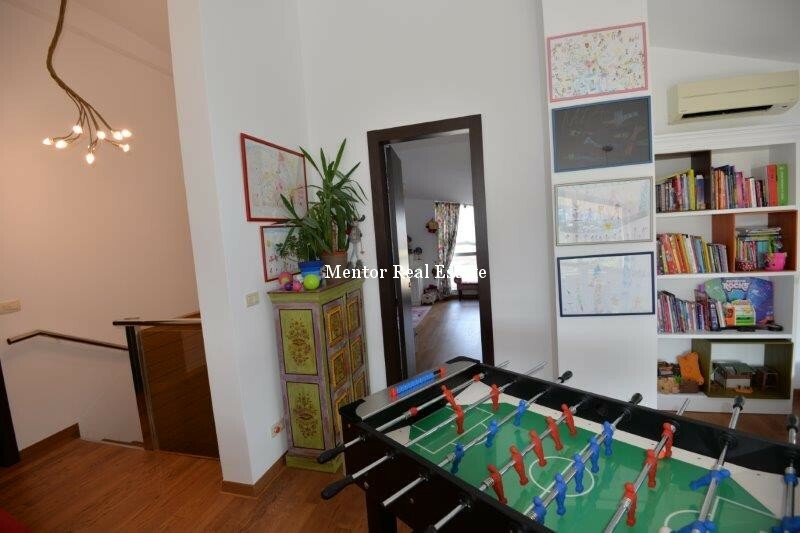 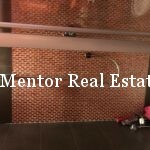 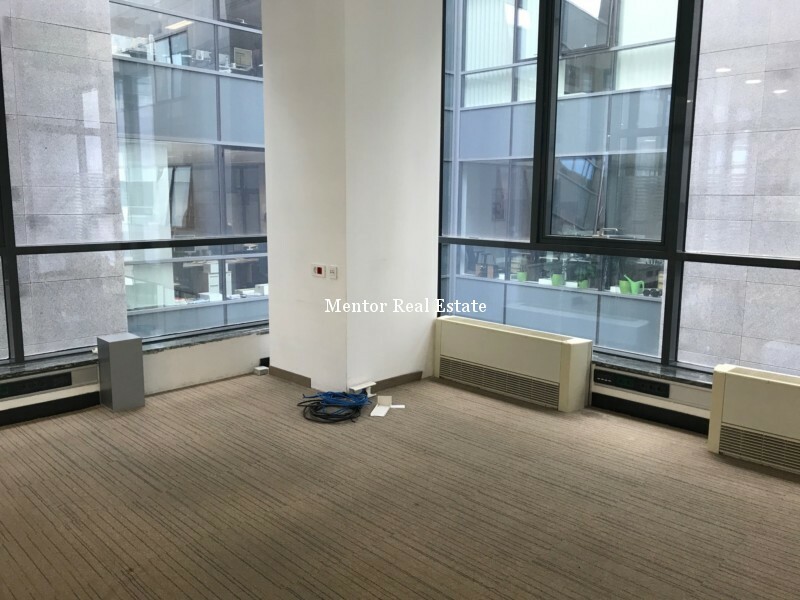 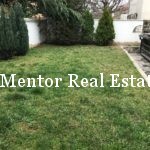 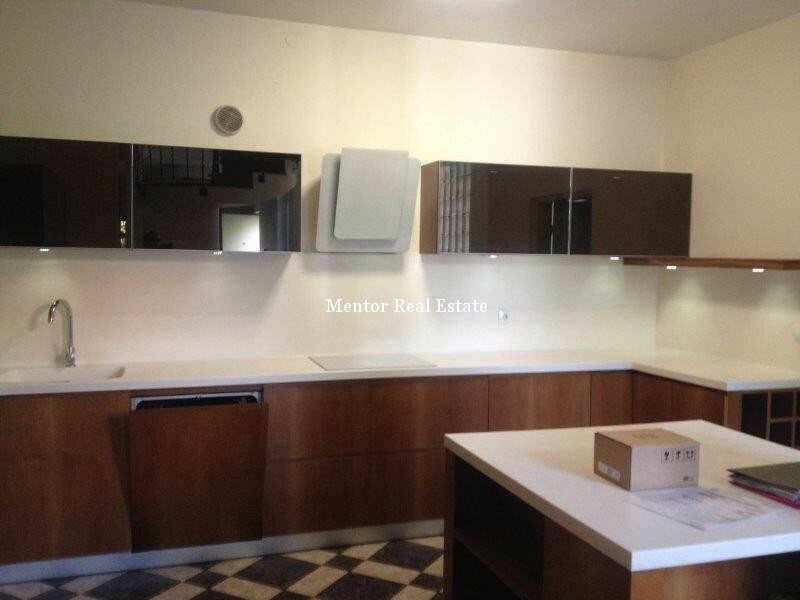 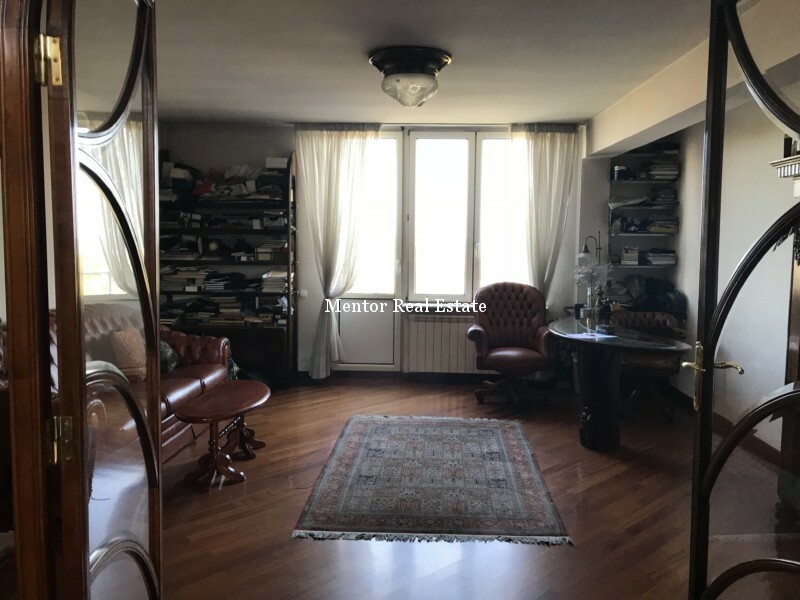 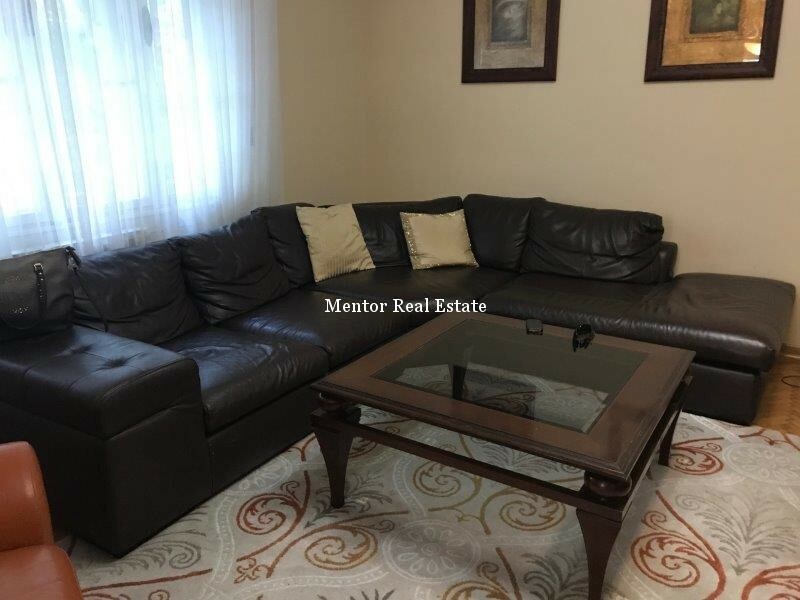 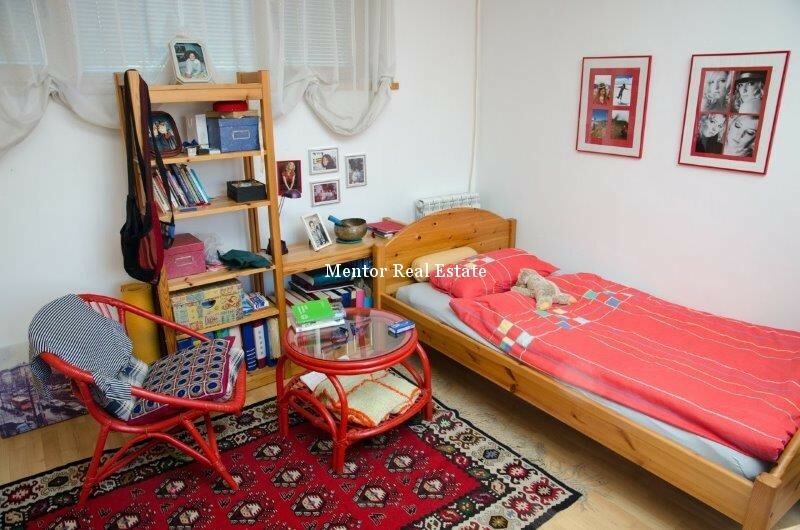 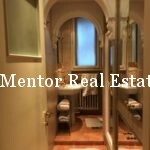 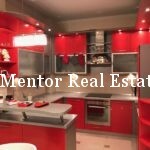 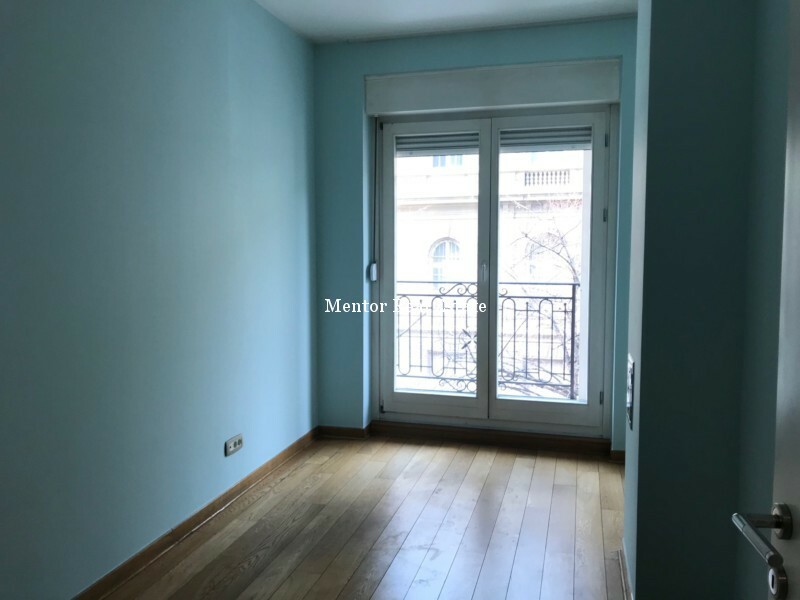 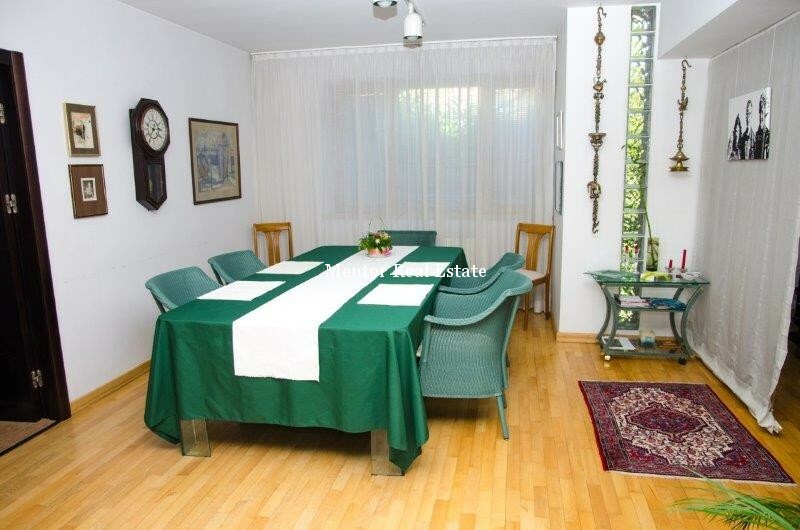 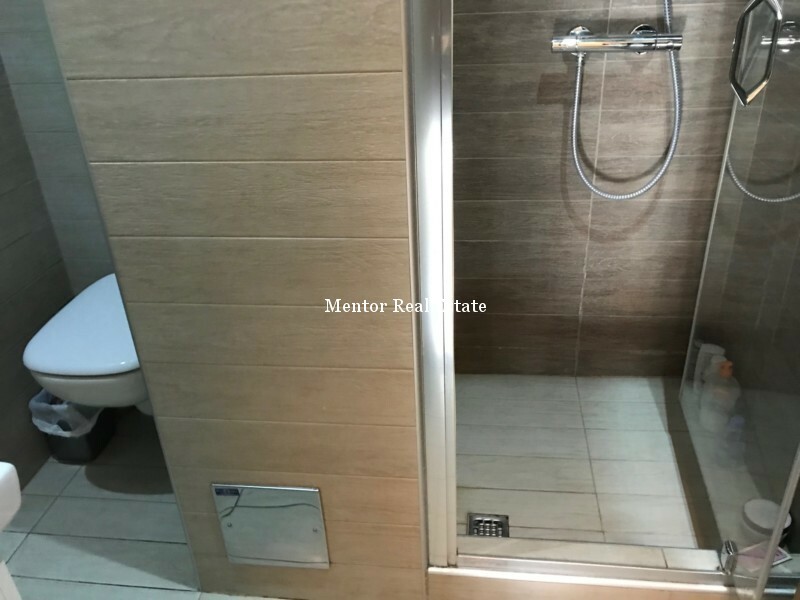 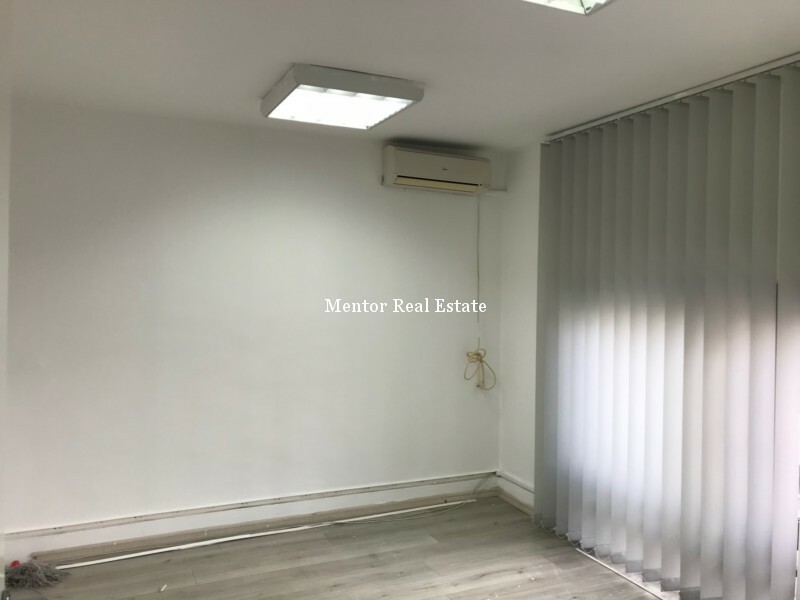 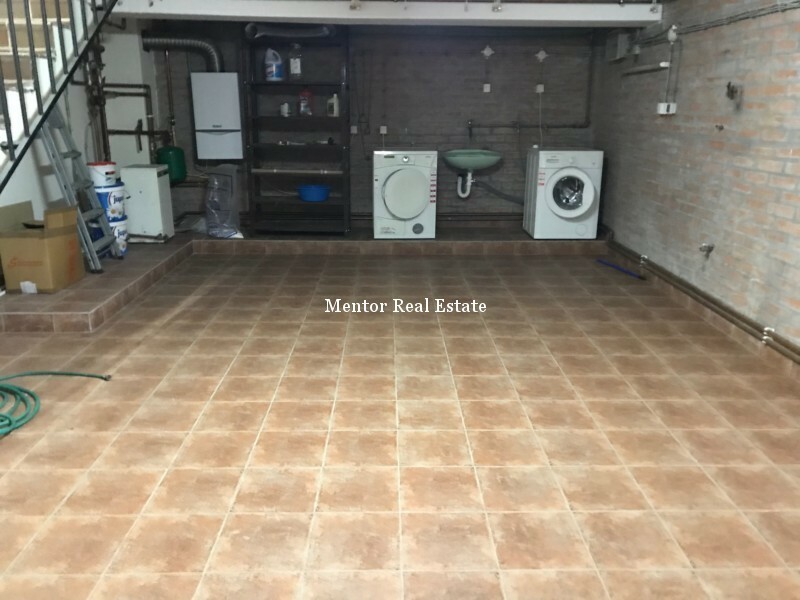 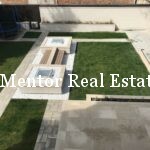 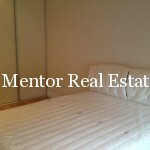 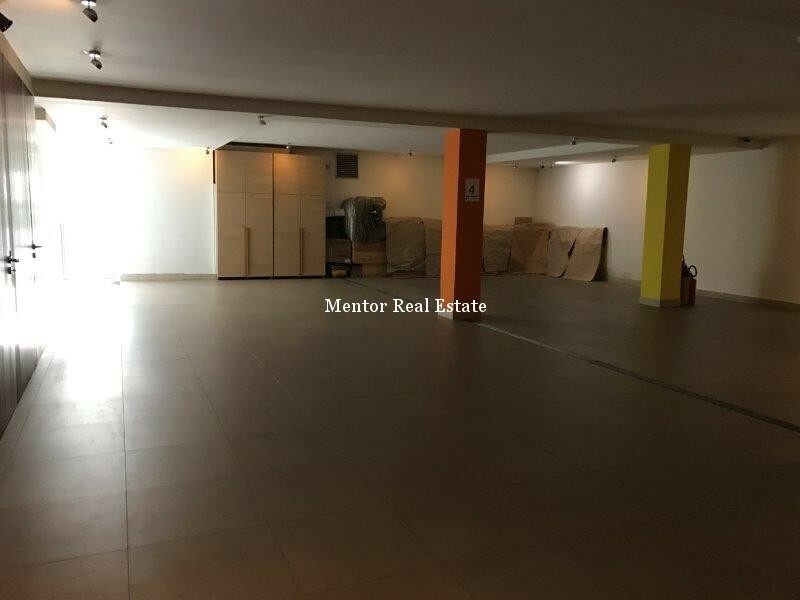 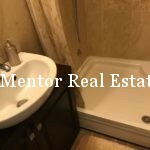 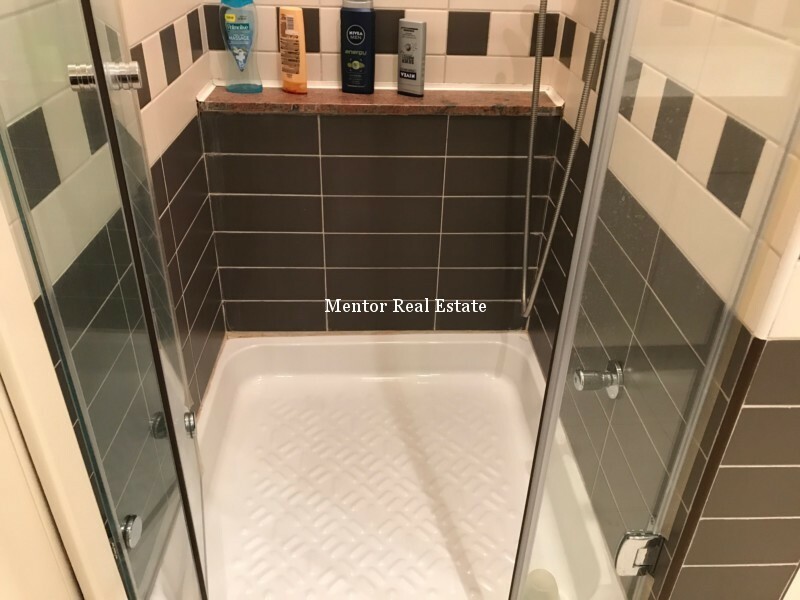 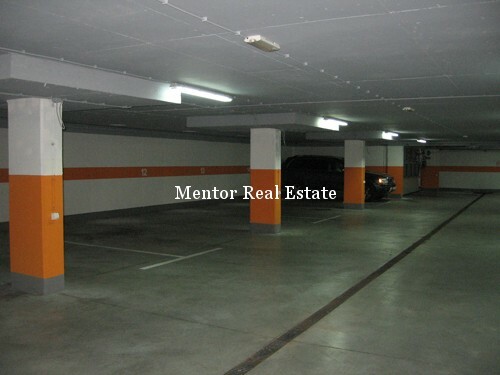 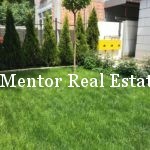 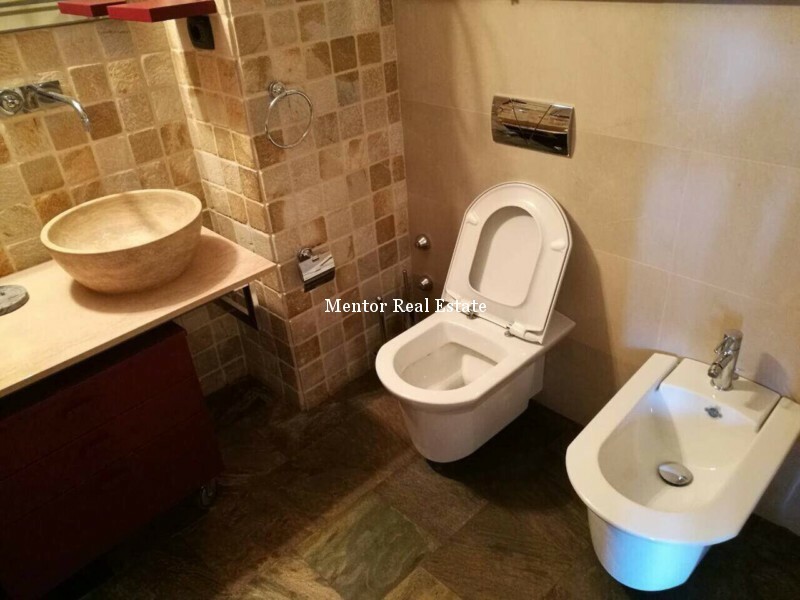 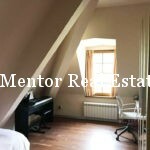 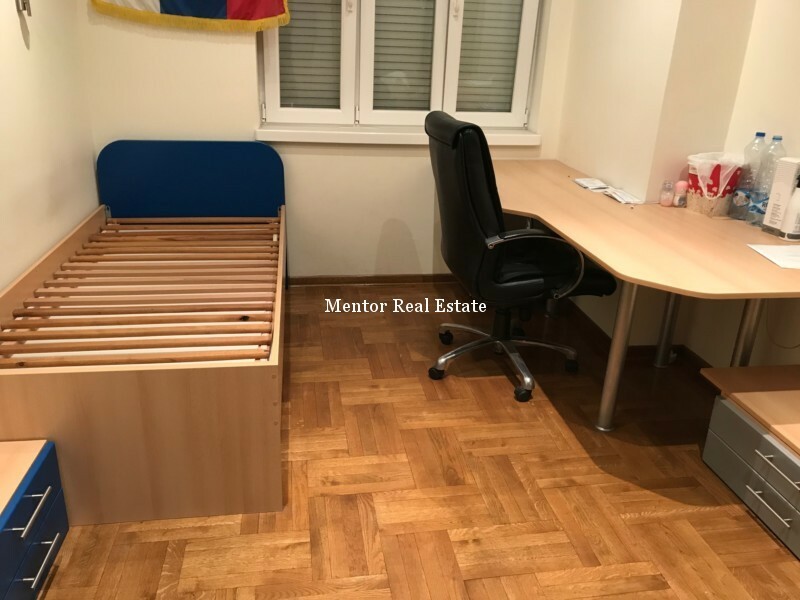 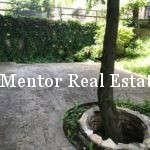 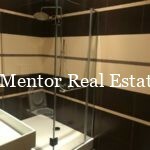 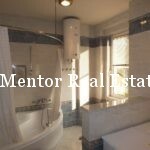 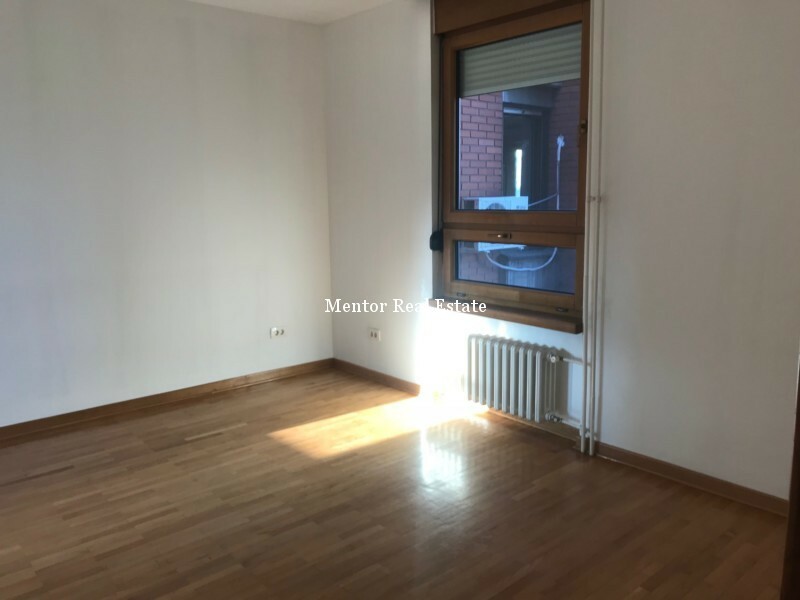 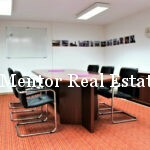 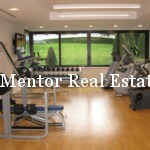 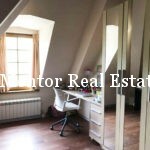 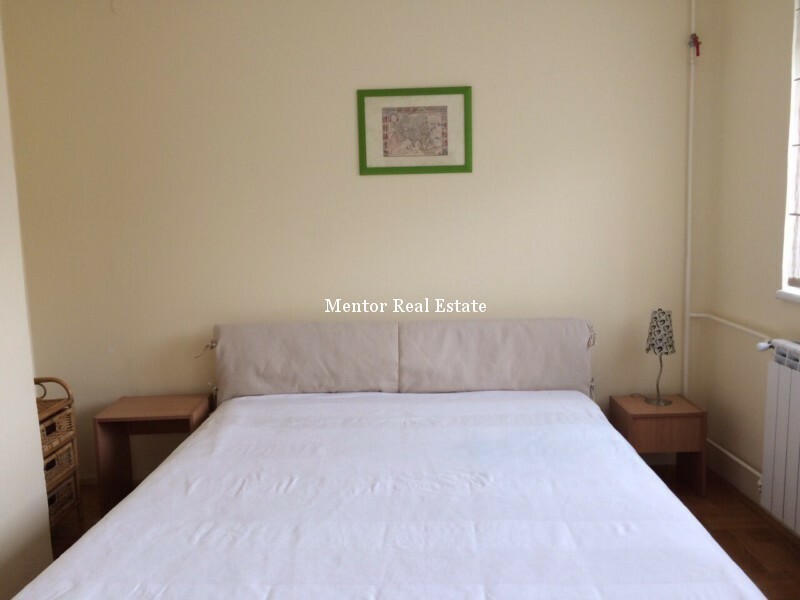 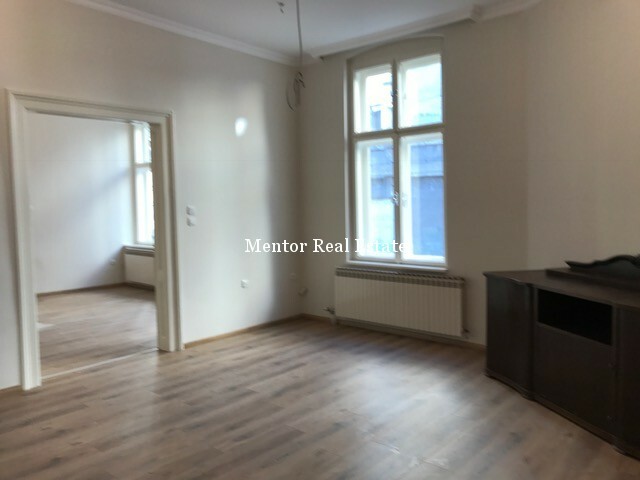 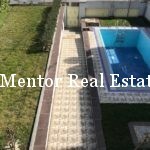 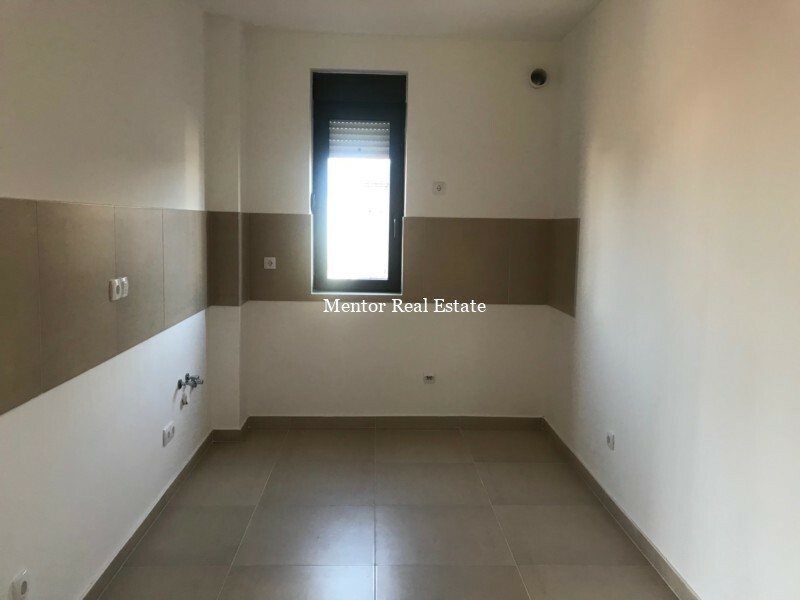 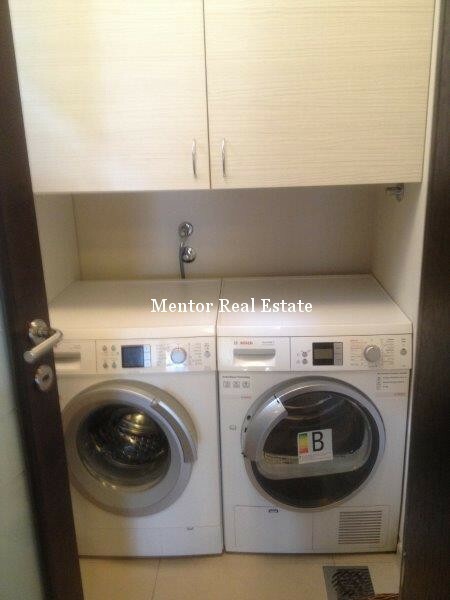 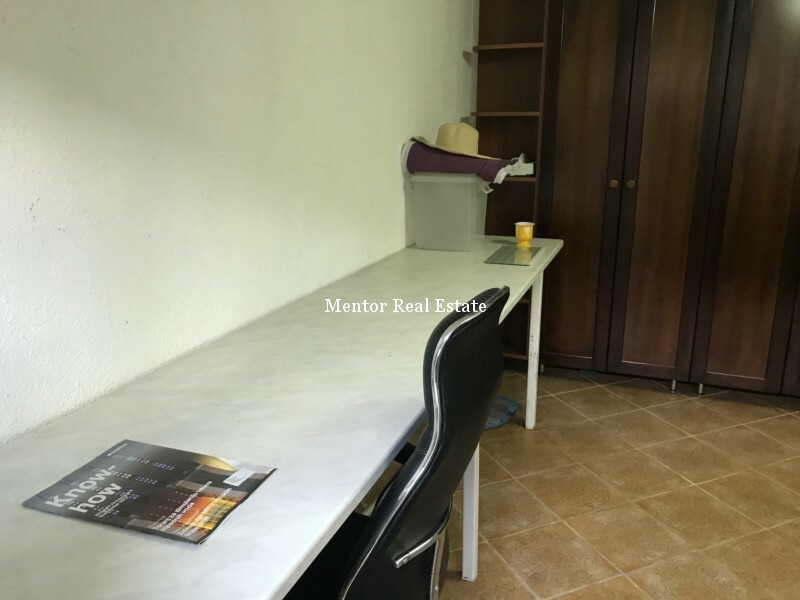 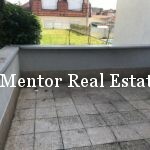 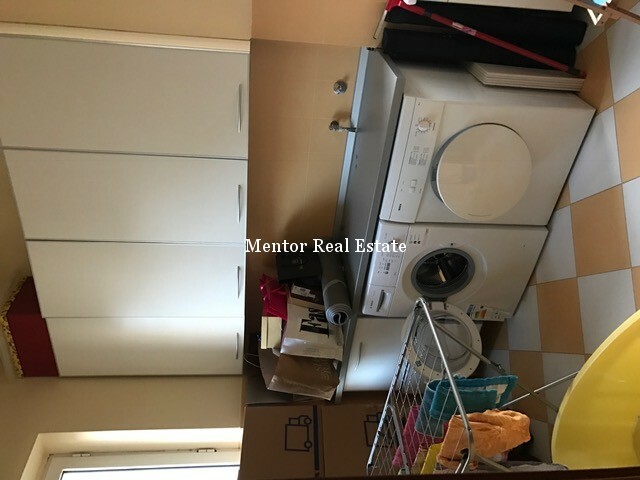 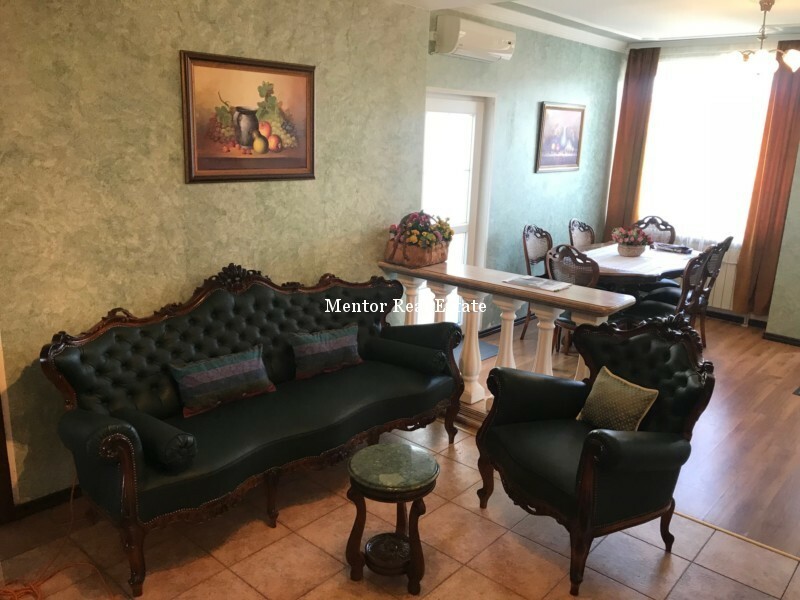 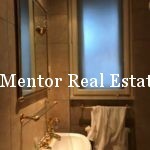 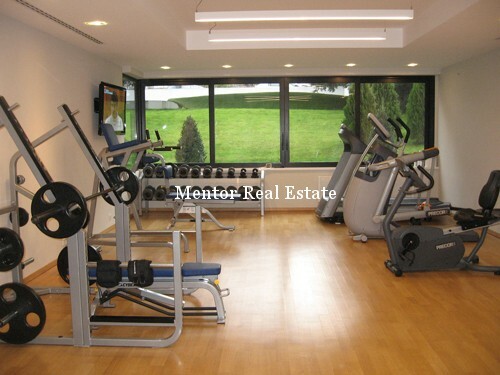 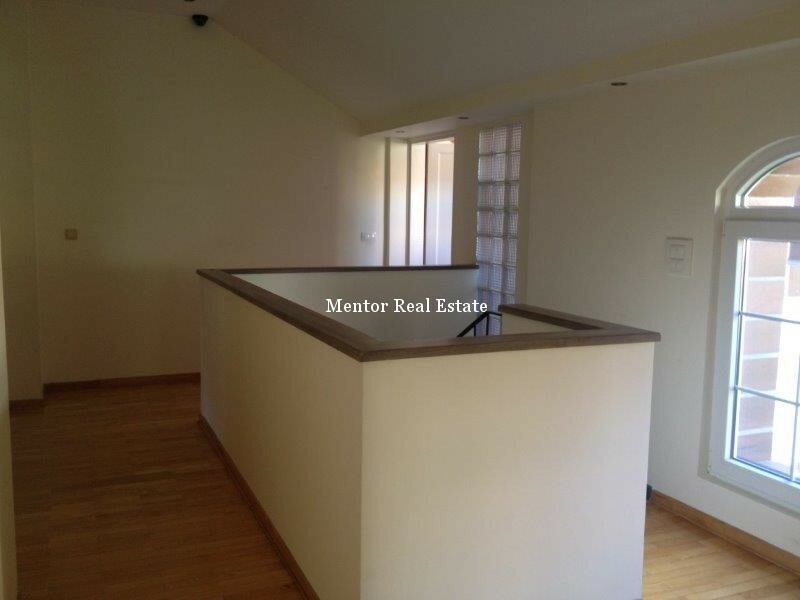 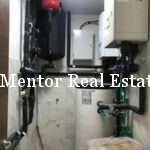 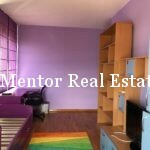 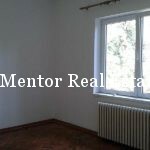 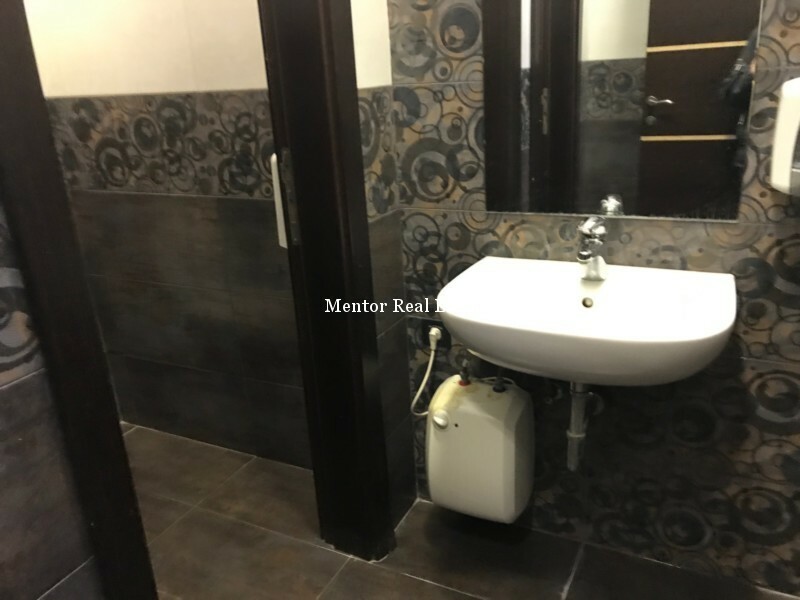 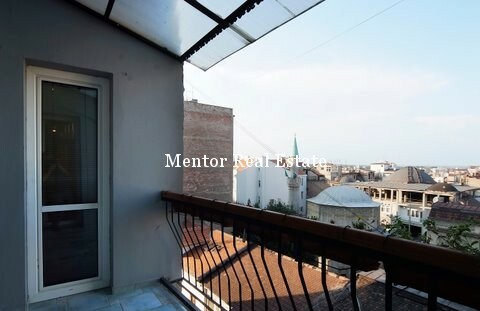 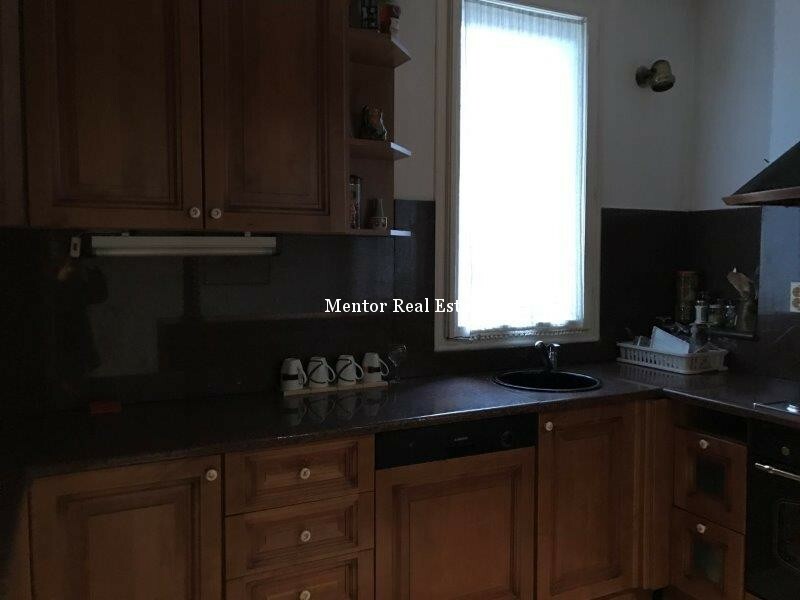 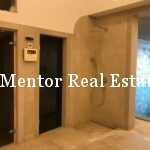 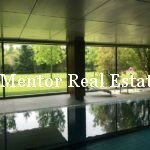 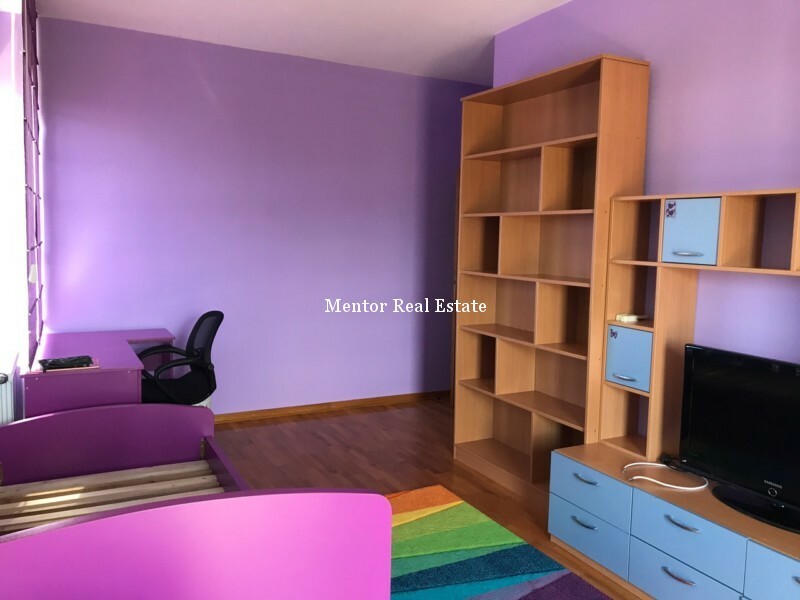 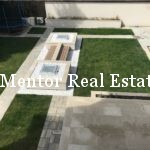 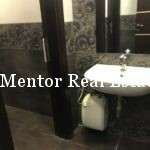 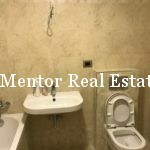 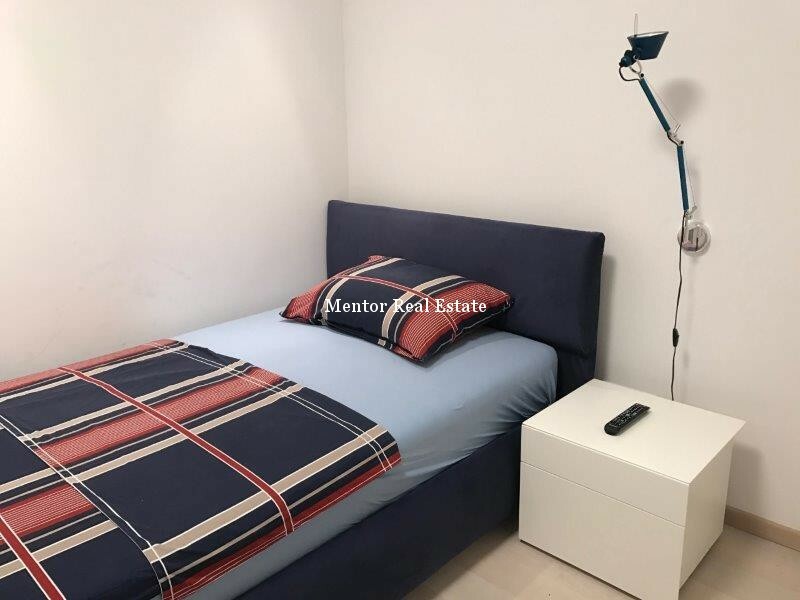 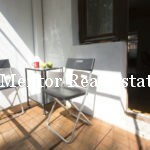 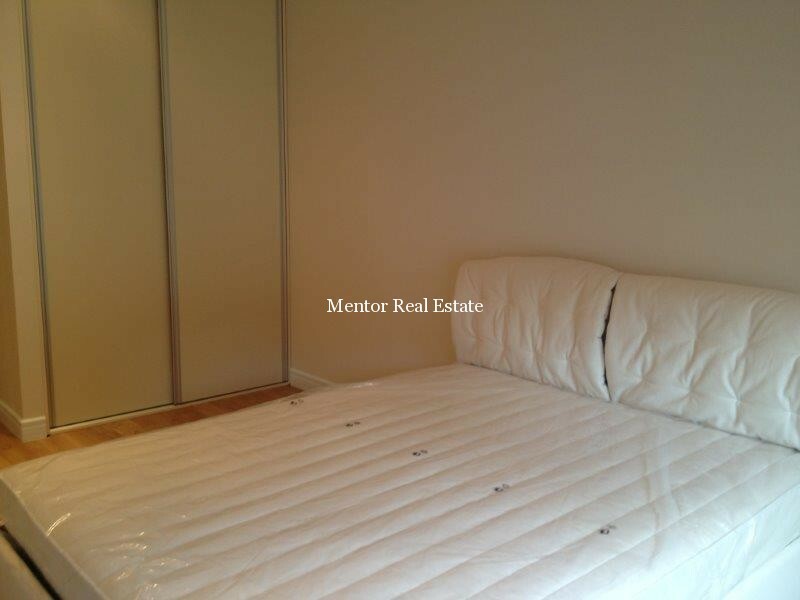 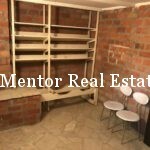 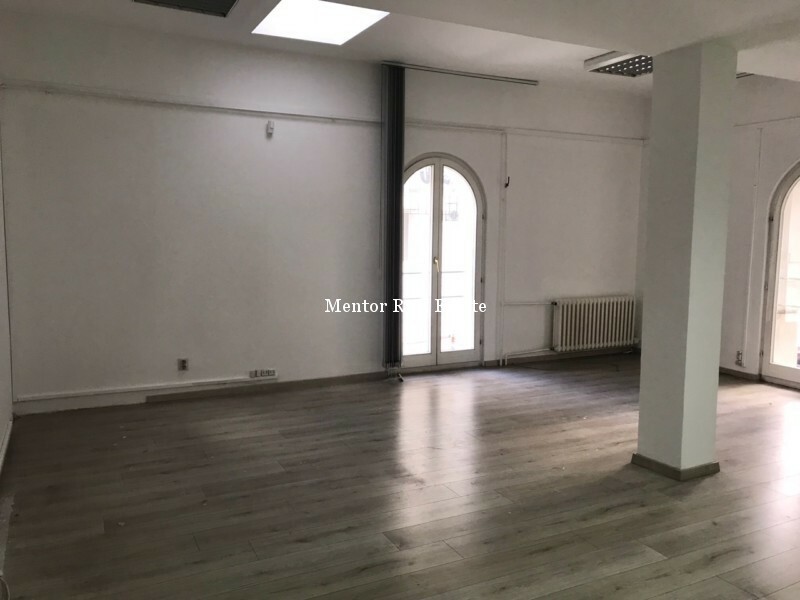 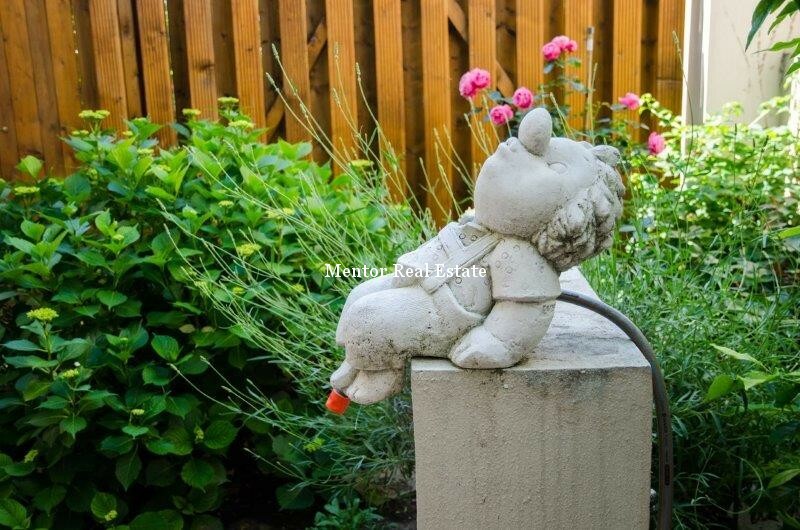 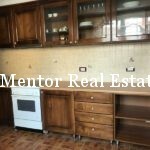 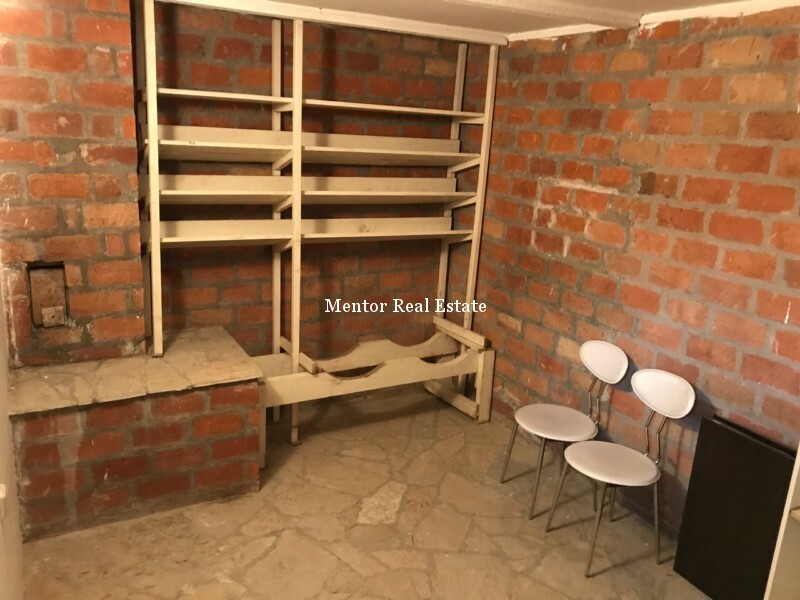 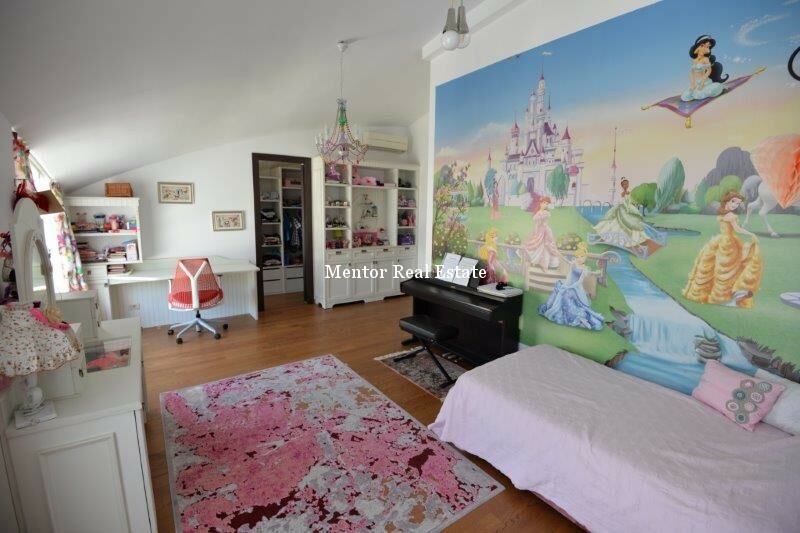 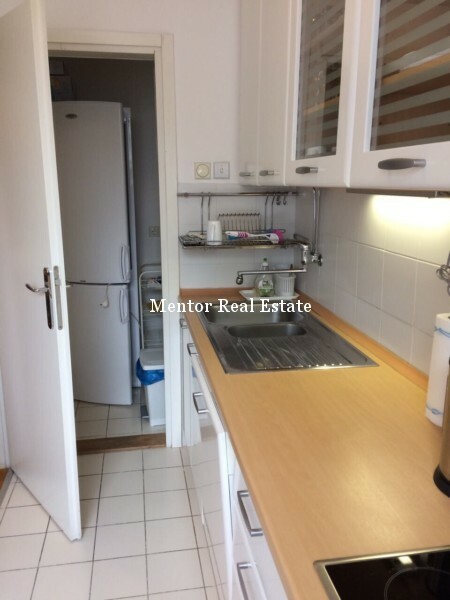 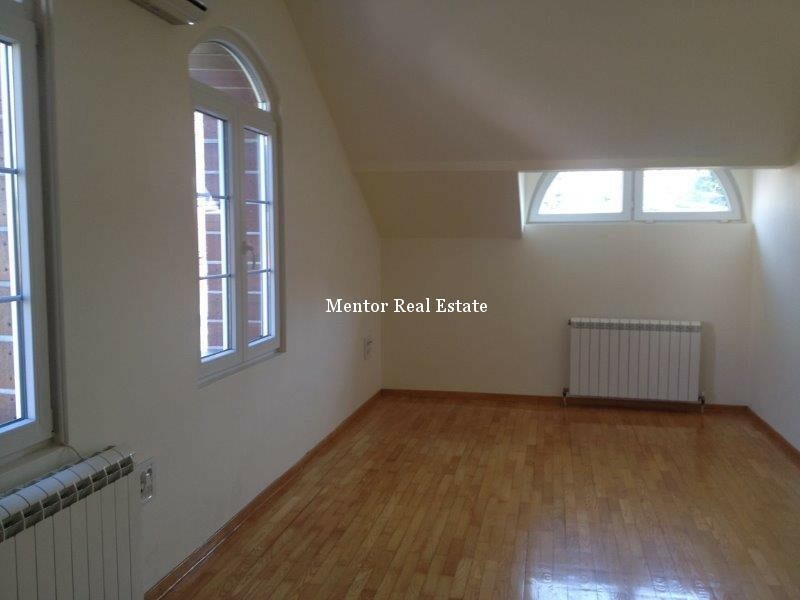 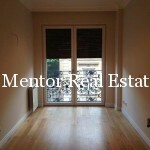 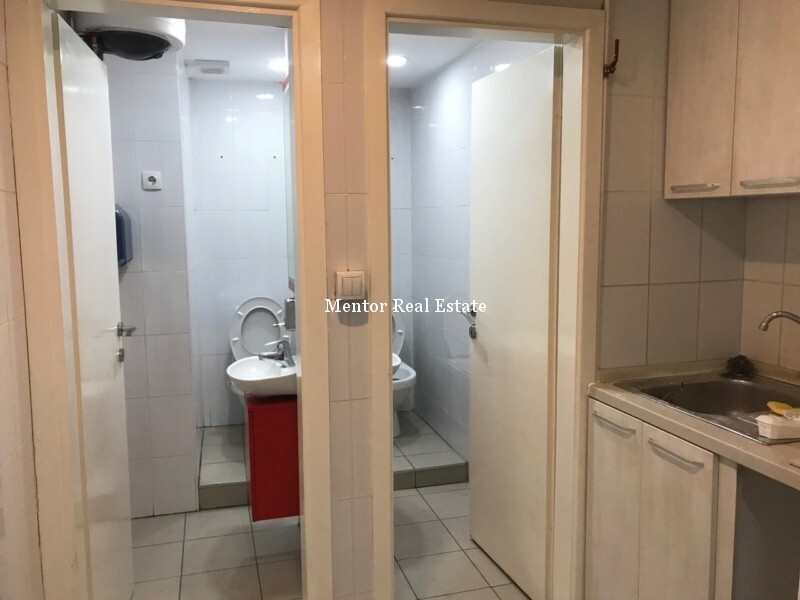 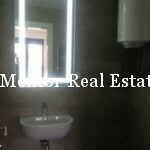 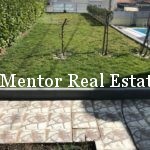 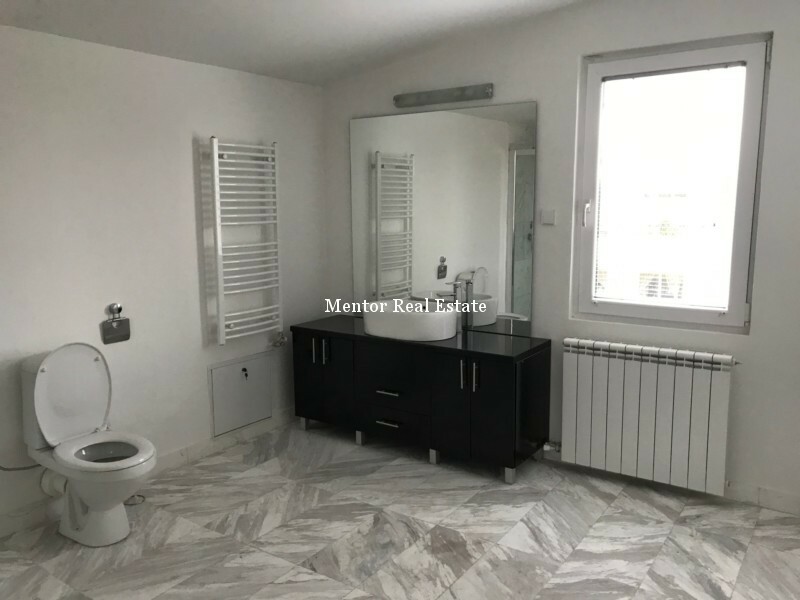 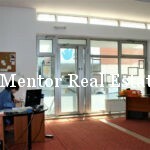 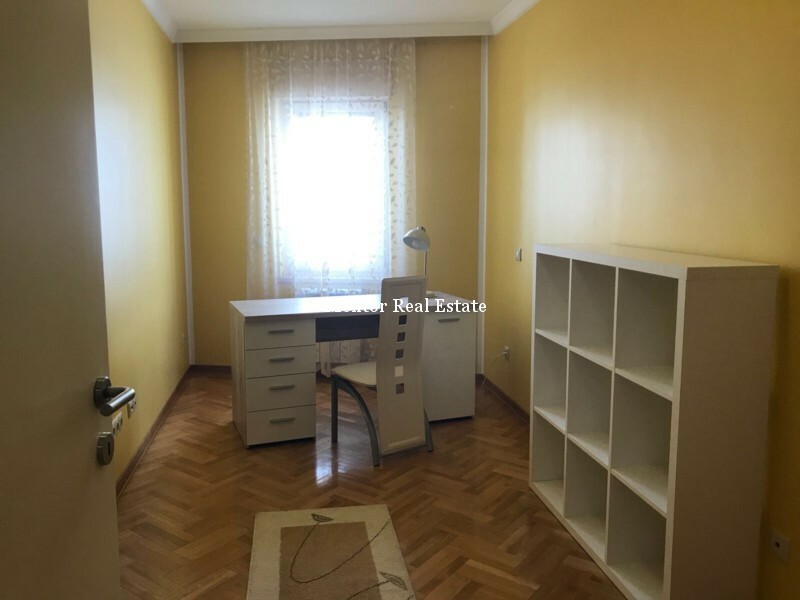 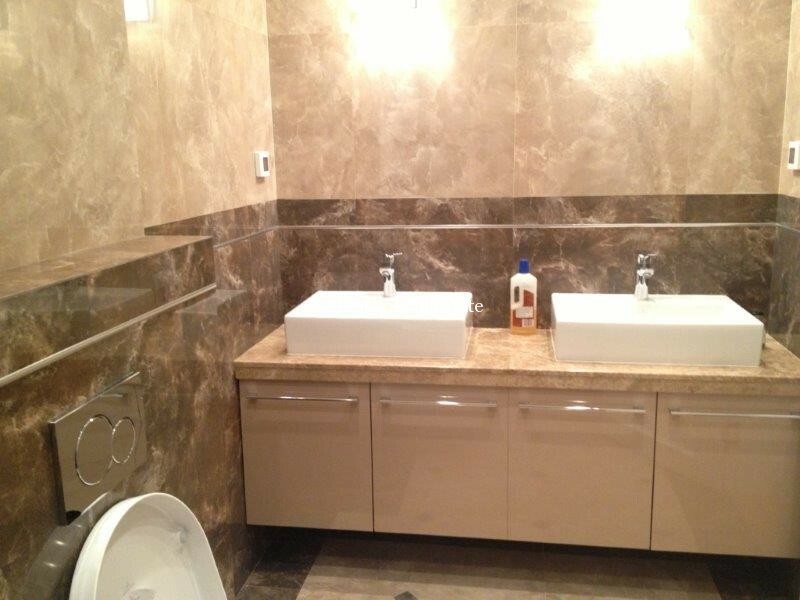 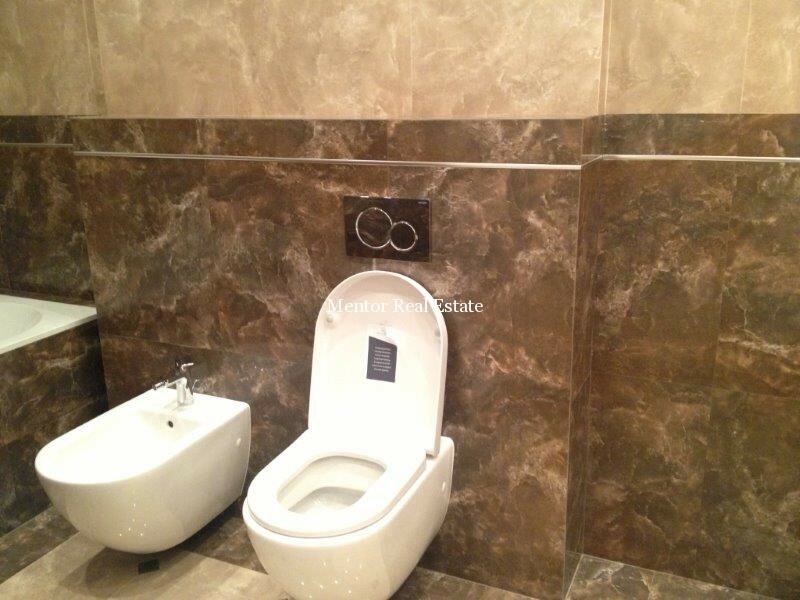 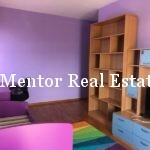 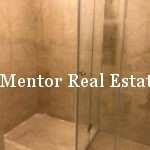 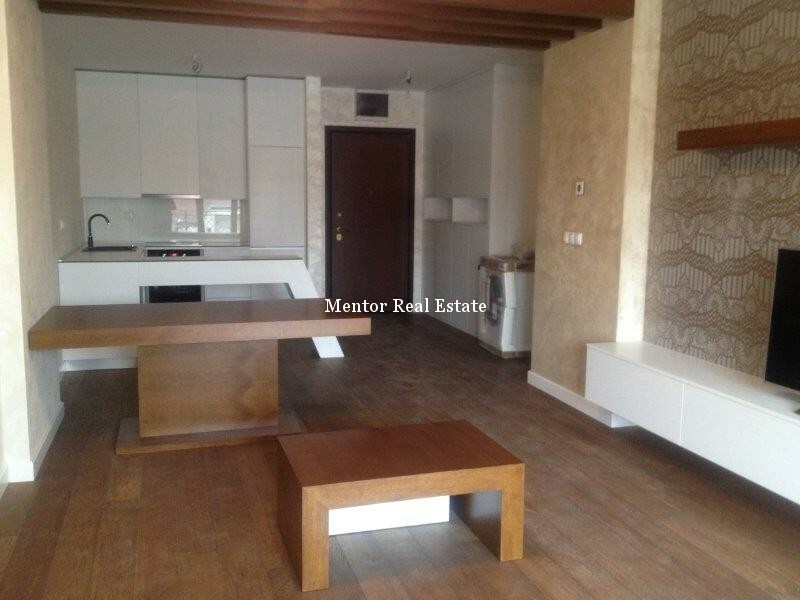 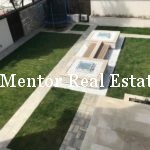 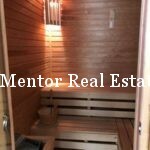 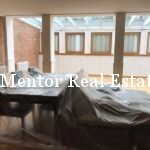 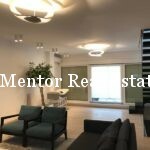 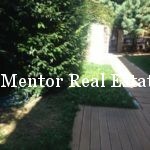 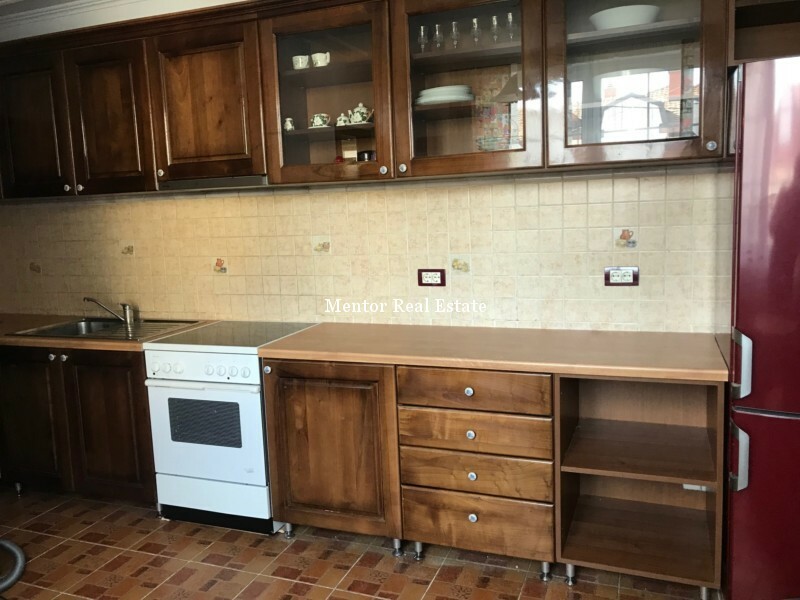 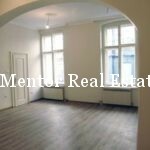 If you are ready to give your best to obtain them all needed and fulfill all their requests, they won’t think nor regret to pay good to highly professional agency that will provide for them the best living and working conditions and the final commission with this clients is not less than the amount they will pay for two monthly rents of chosen apartment. 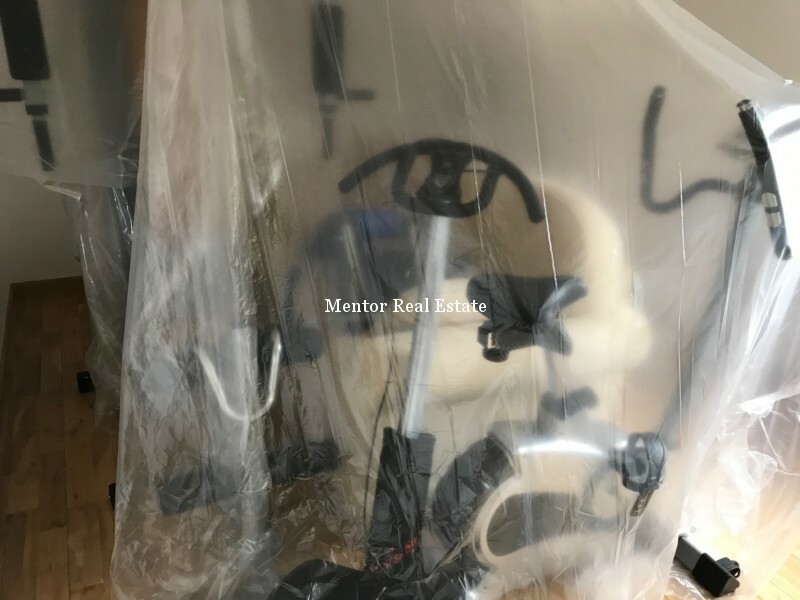 Our best friends are not always the best friends for our landlords and the owners of the apartments that you want to move, especially if they are not big fans of animals inside the apartment. 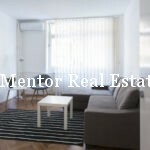 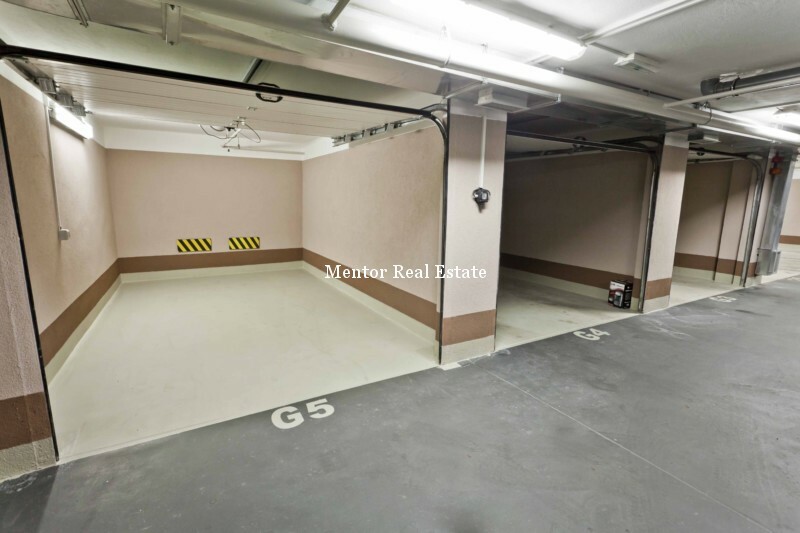 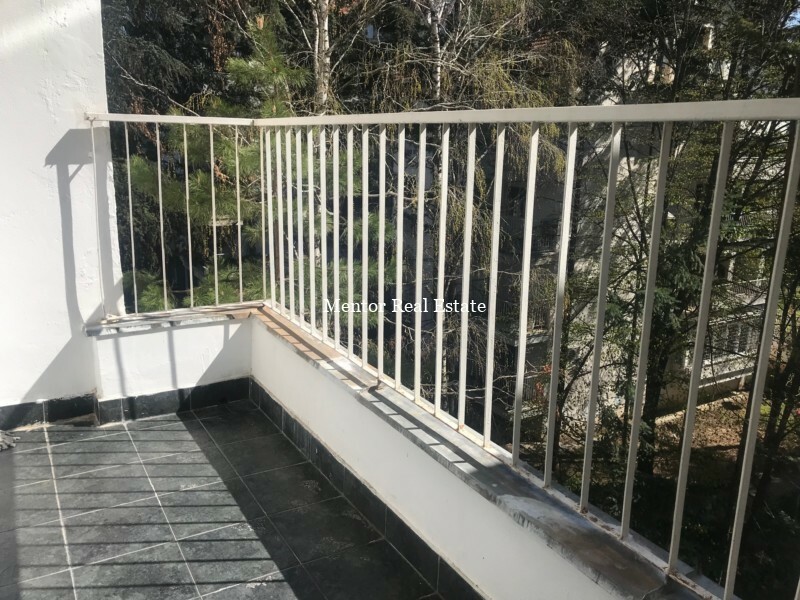 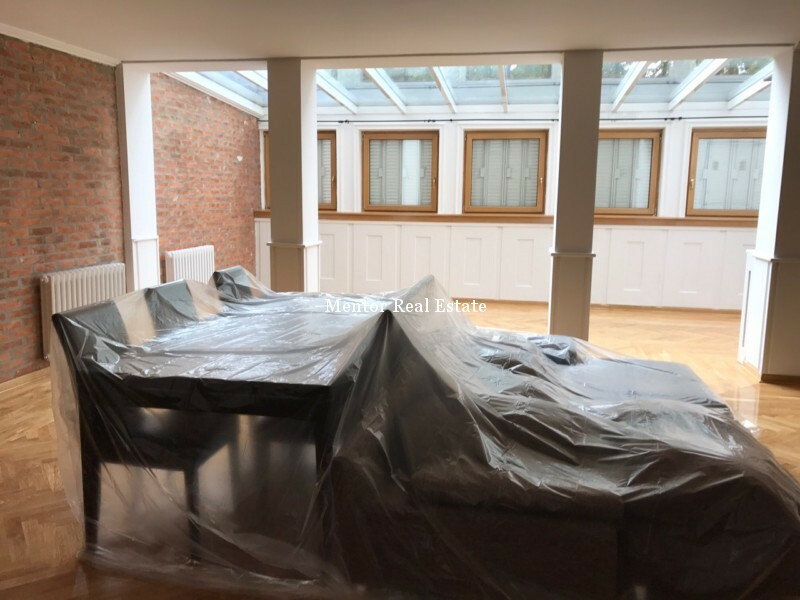 You are probably right when you think that once you pay the apartment you are allowed to do inside of it whatever you feel like to, however owner wants to protect its own property from any kind of damage that might be caused by an animal. 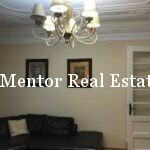 Unfortunately no matter how trained and obedient your pets are, change of a living environment can provoke them to make a lot of unwanted damage. 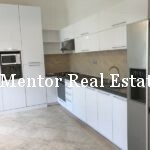 Having in mind number of families that own pets’ landlords should accept them together with tenants, otherwise they will surely close the door to for a many of potential renters who are ready to pay the monthly rent if they can keep their pet with them self. 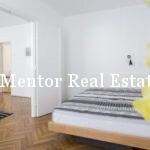 However if they don’t want them in apartment and you don’t have their permission you won’t be able to keep your pet in your new apartment. 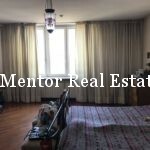 Solution for both is to make clear how far they are ready to sacrifice for their own interests and to put in lease agreement under what conditions are pets allowed to stay in rented apartment. 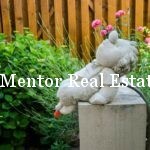 Once the owner accept the animal in his new or renovated apartment it would be fair tenant pay all the damage caused by his pet. 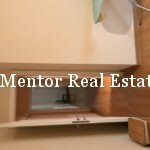 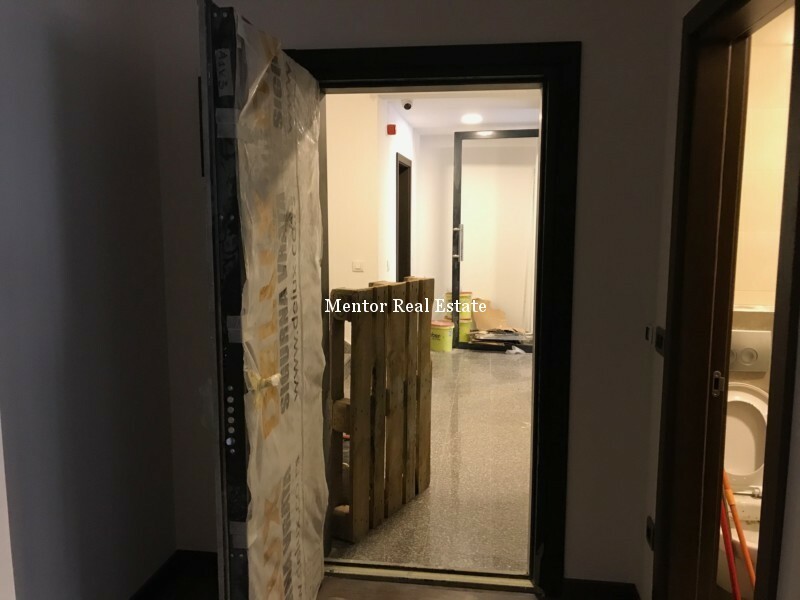 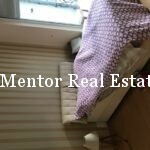 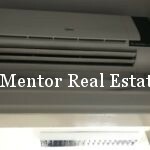 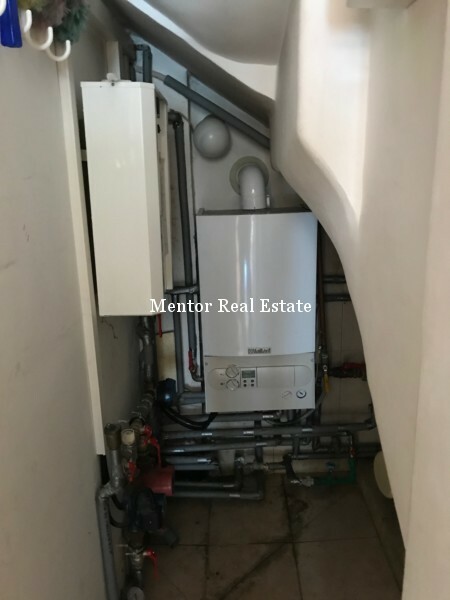 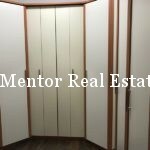 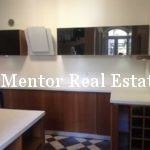 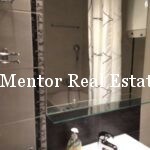 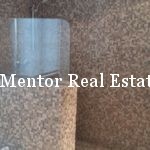 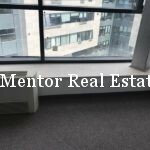 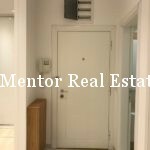 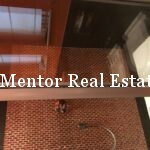 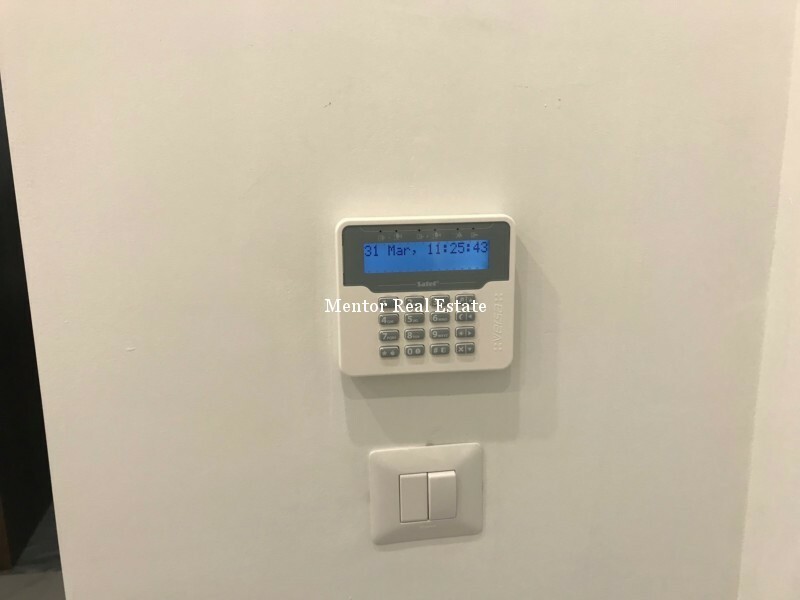 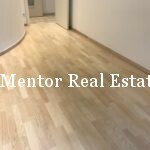 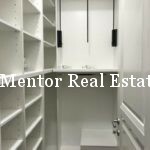 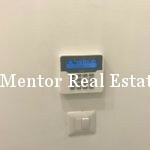 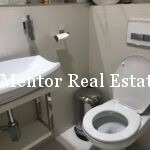 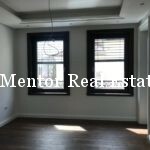 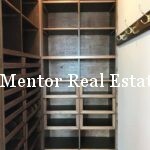 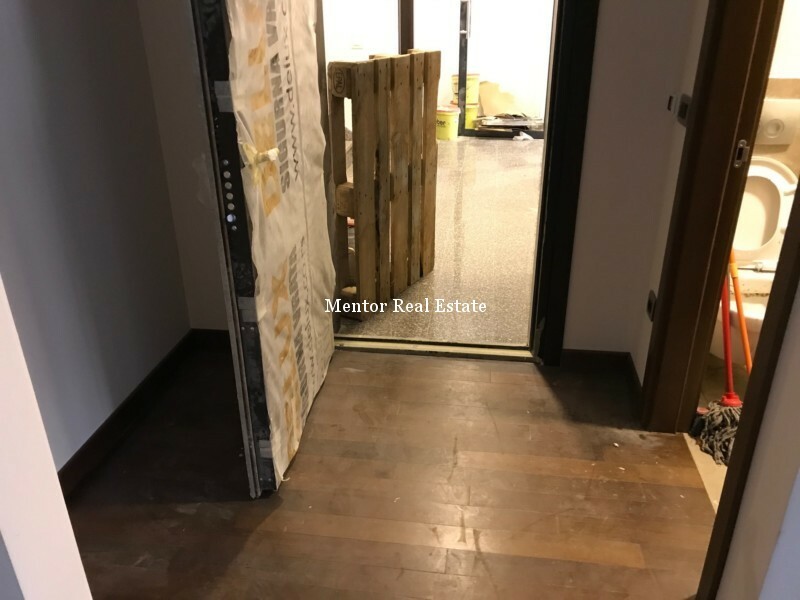 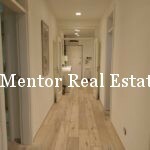 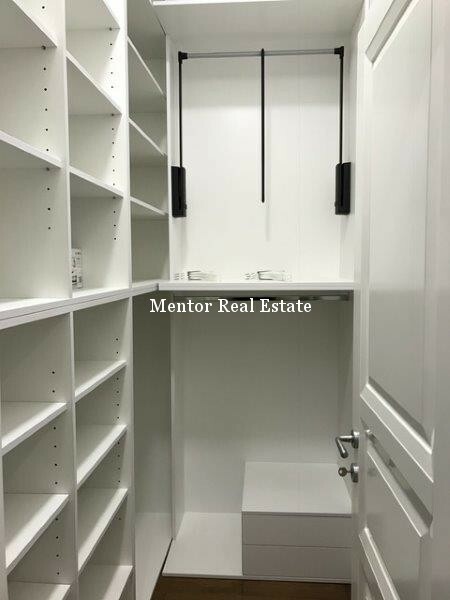 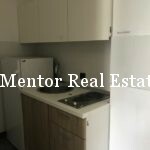 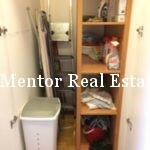 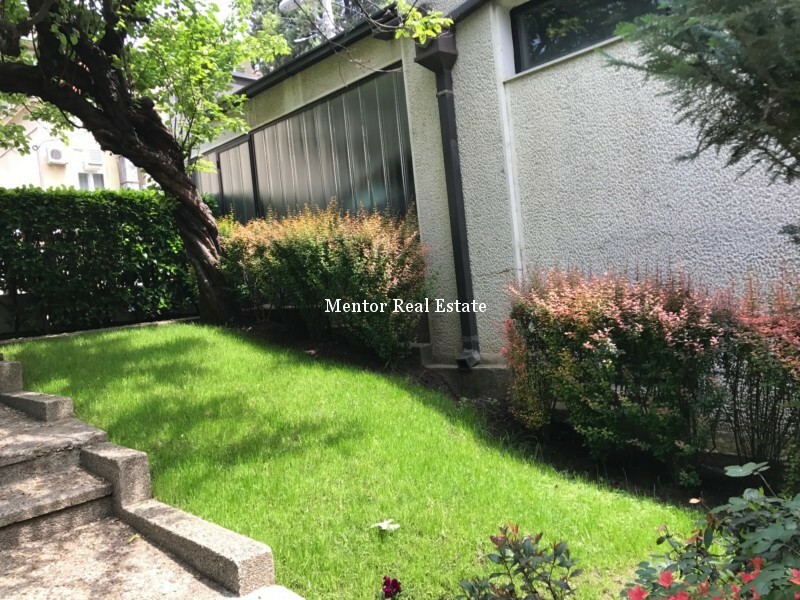 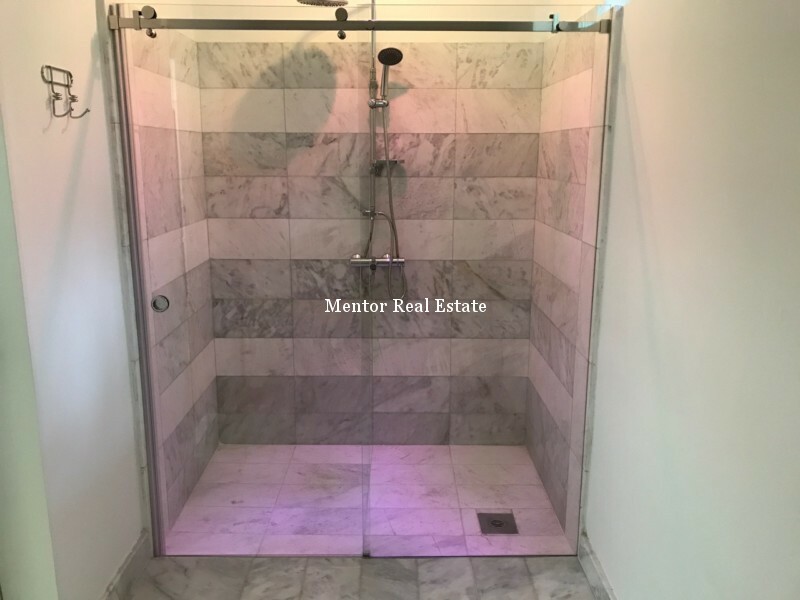 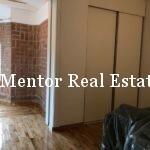 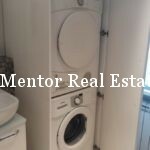 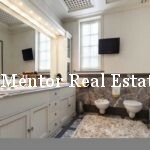 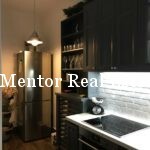 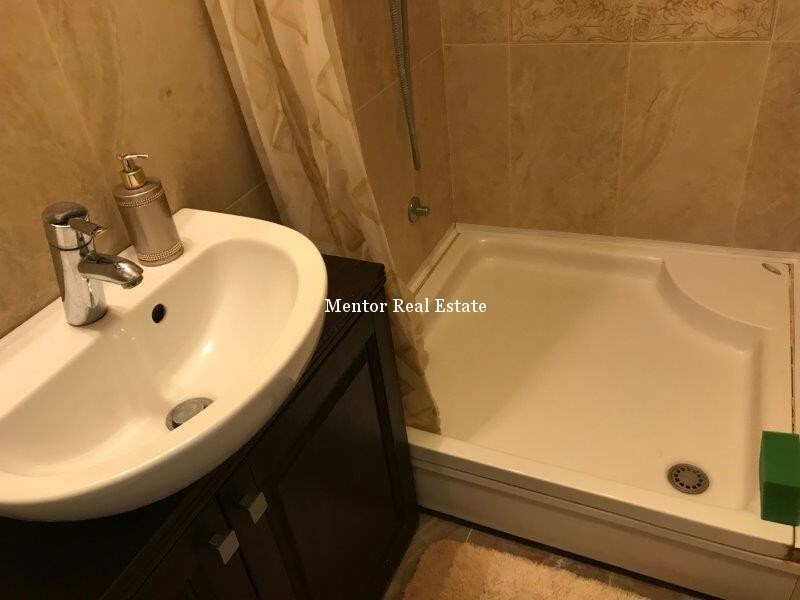 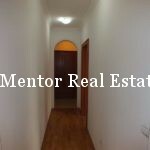 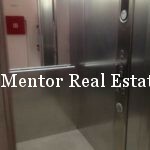 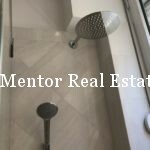 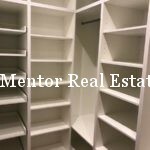 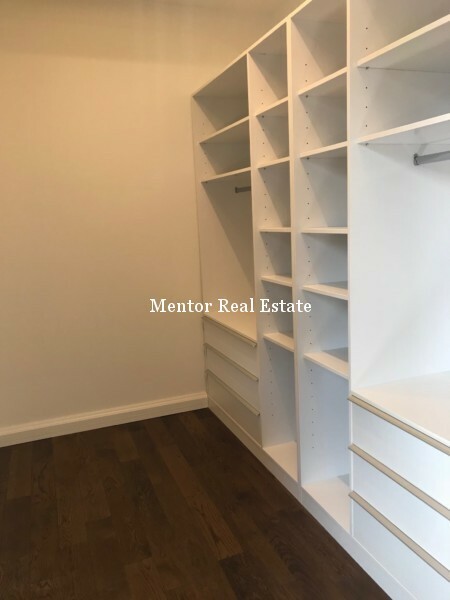 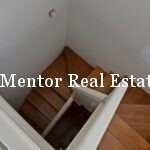 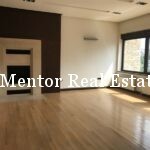 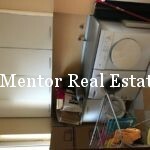 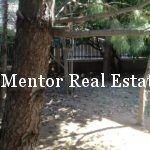 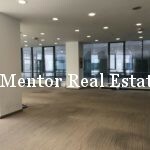 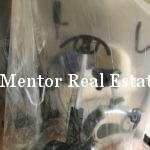 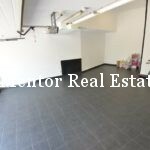 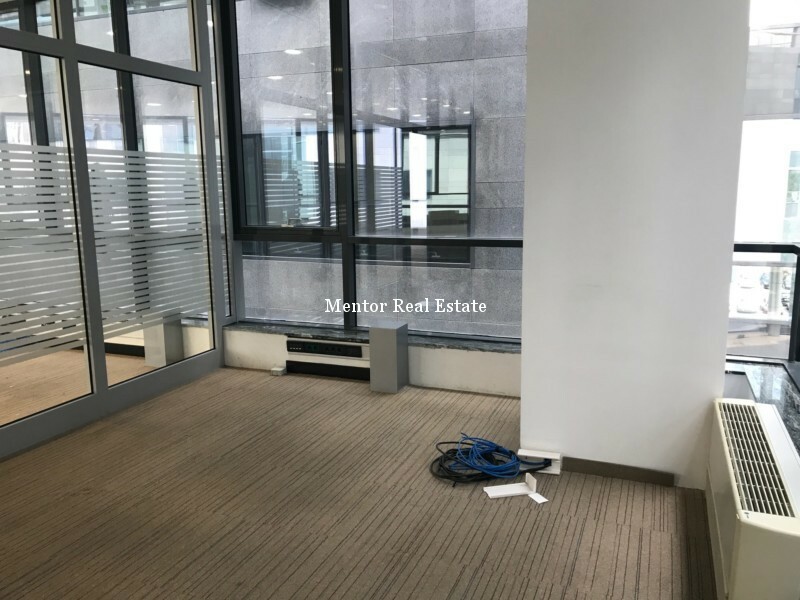 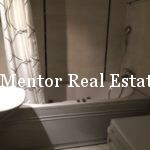 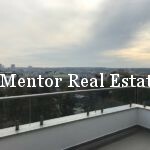 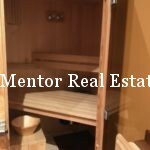 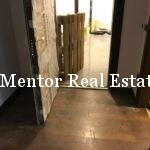 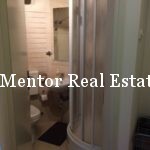 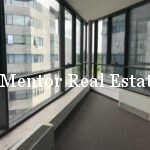 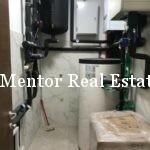 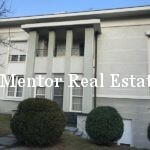 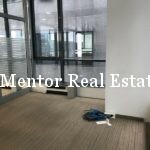 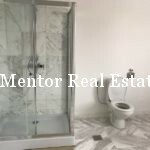 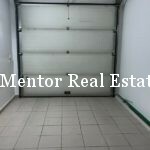 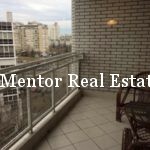 Due to these situations it is not surprise that owner would ask bigger security deposit to secure himself in the tenant is not ready to pay for it. 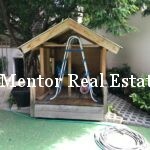 In some of the countries these amount is even obligatory and better known as pet bonds. 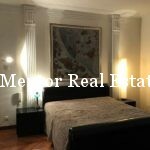 However, sometimes this is not enough. 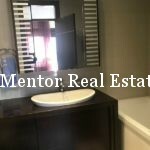 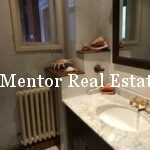 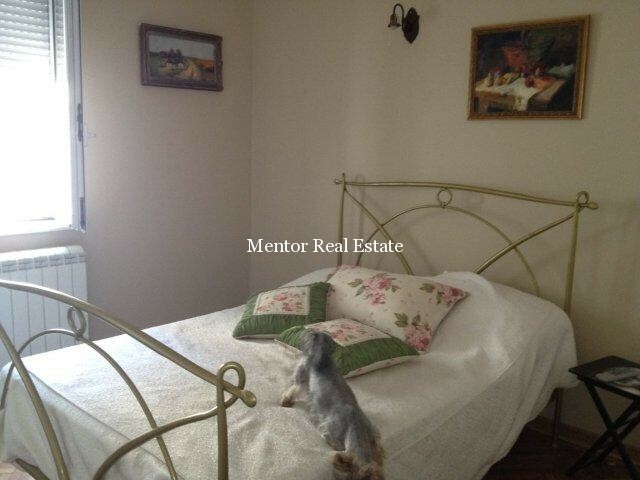 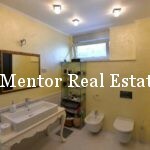 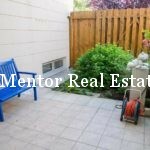 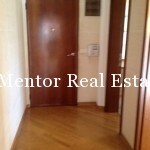 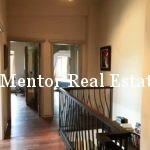 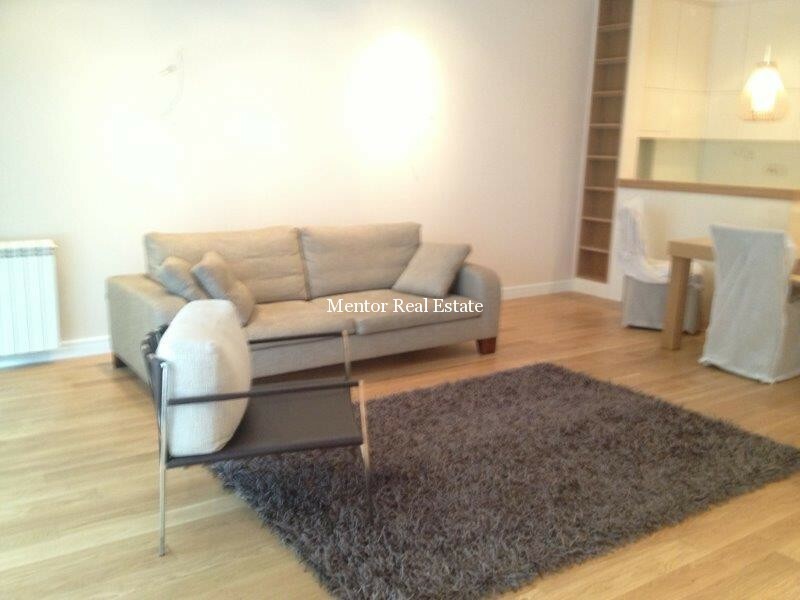 Just for any case give pet resume, letter from the vet, references from a previous neighborhood and landlords. 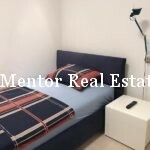 In order to persuade your landlord to accept your pet stress out if planning to stay in the apartment for a longer term and even offer higher security deposit even before the landlord had the opportunity to ask from you.